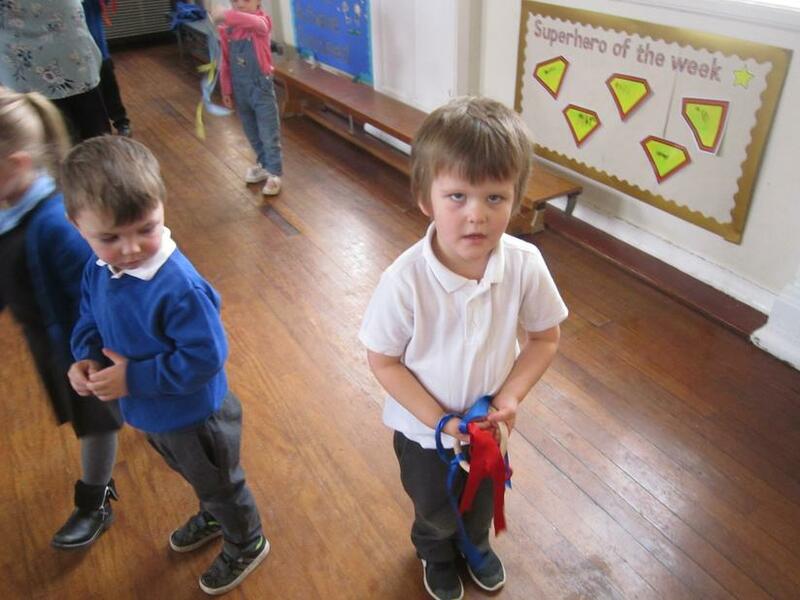 Our star of the week for doing fantastic maths. 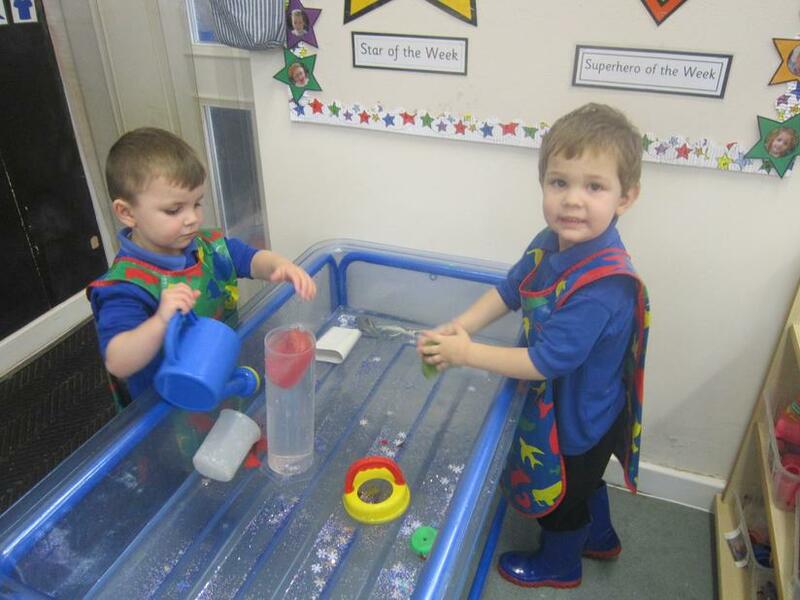 Our superheroes of the week. 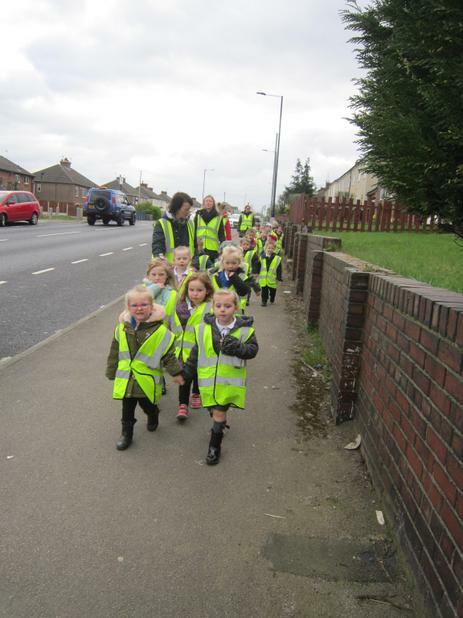 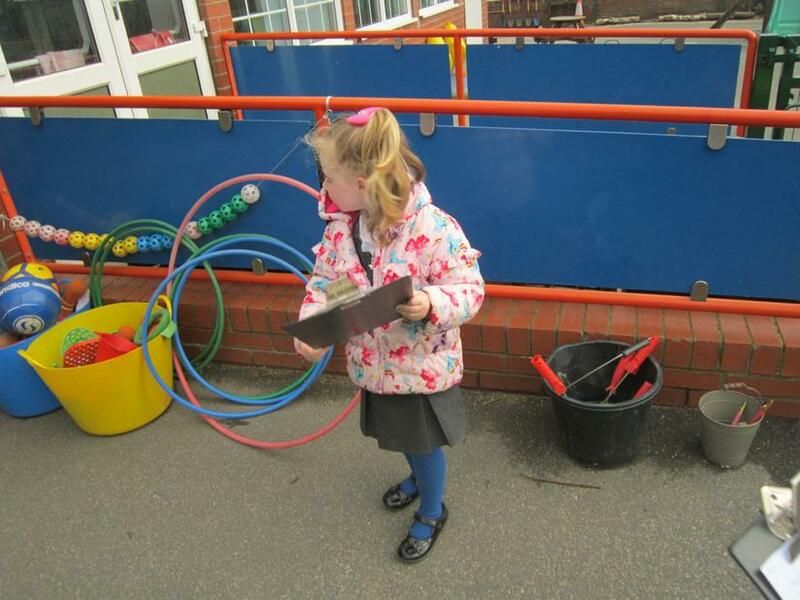 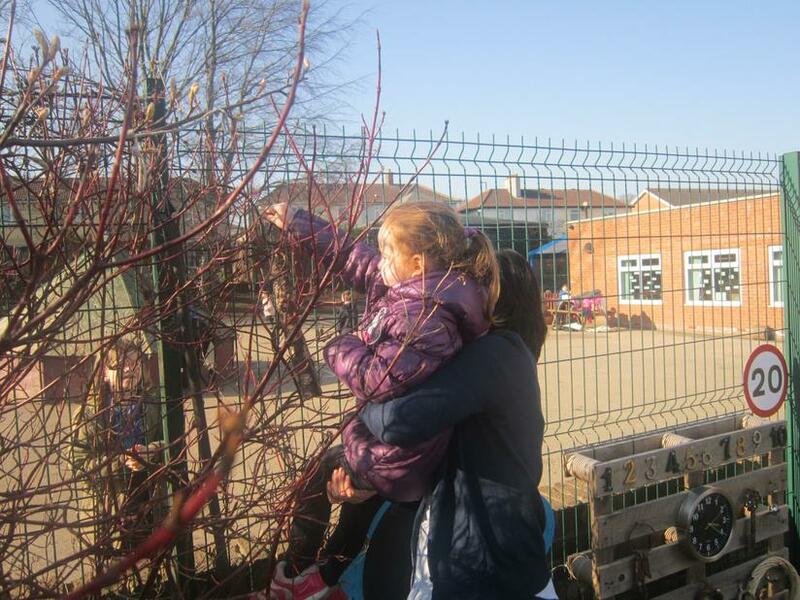 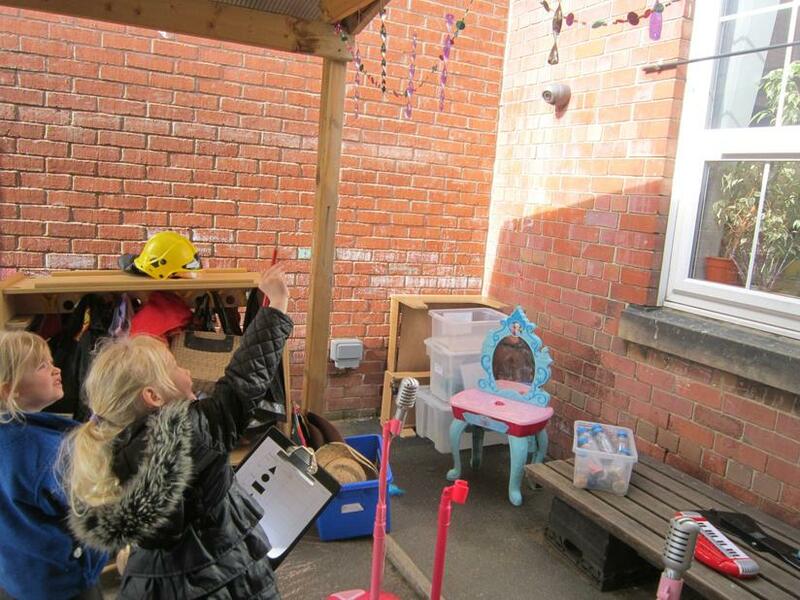 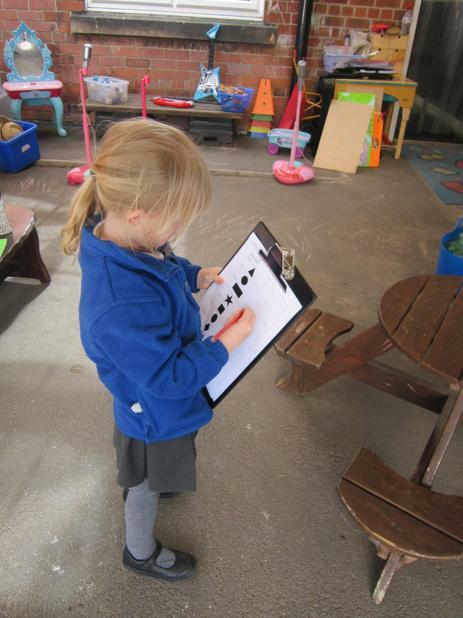 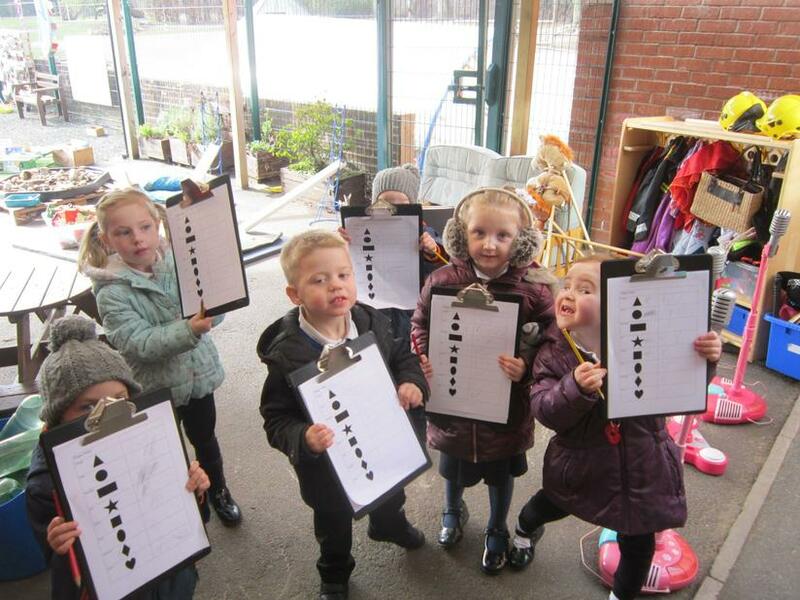 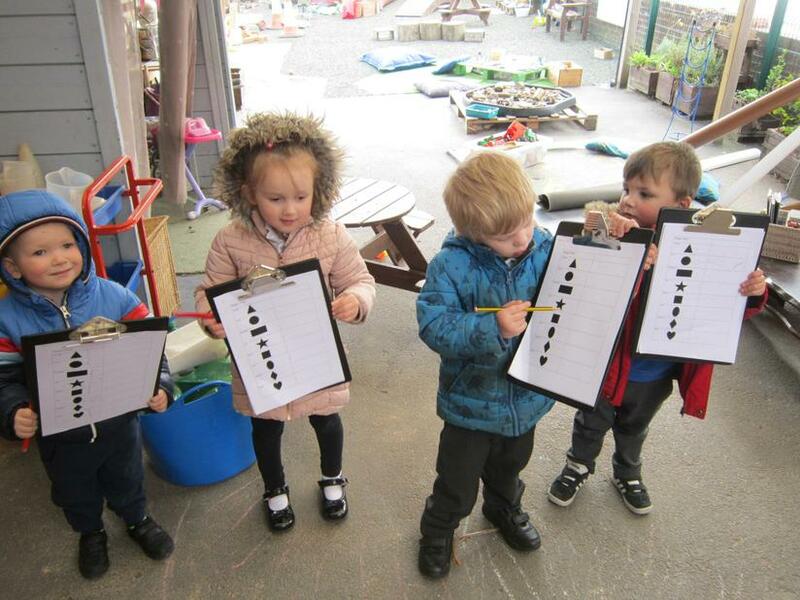 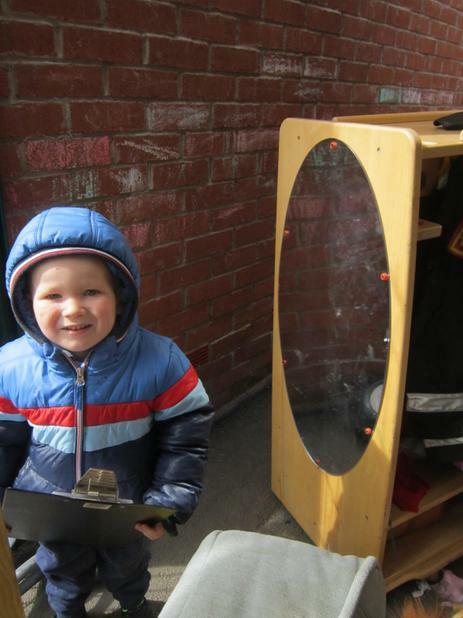 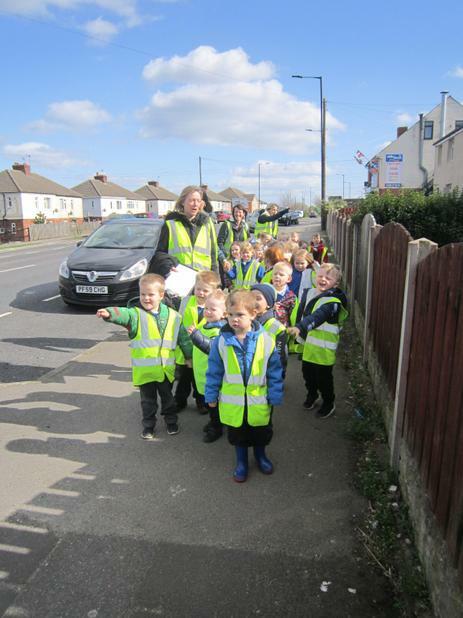 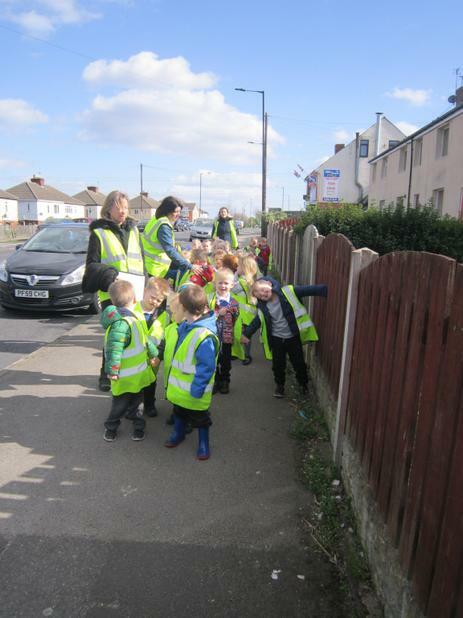 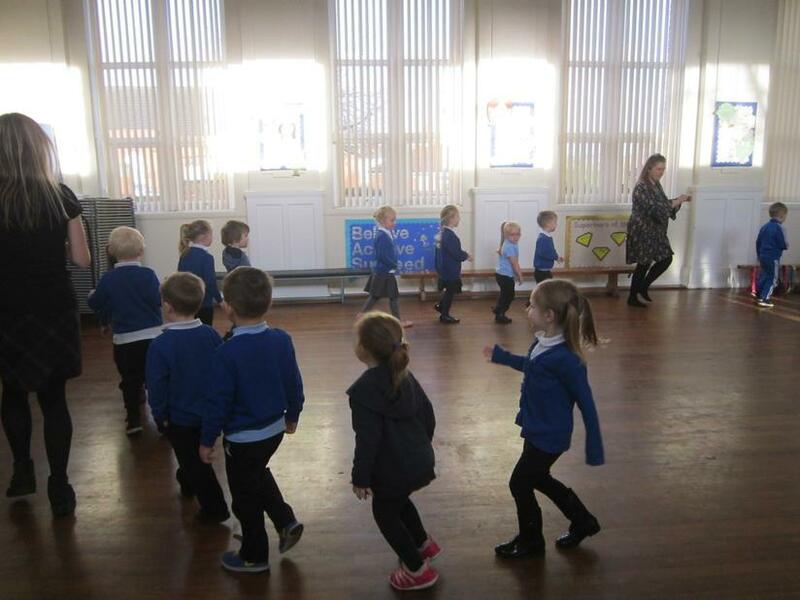 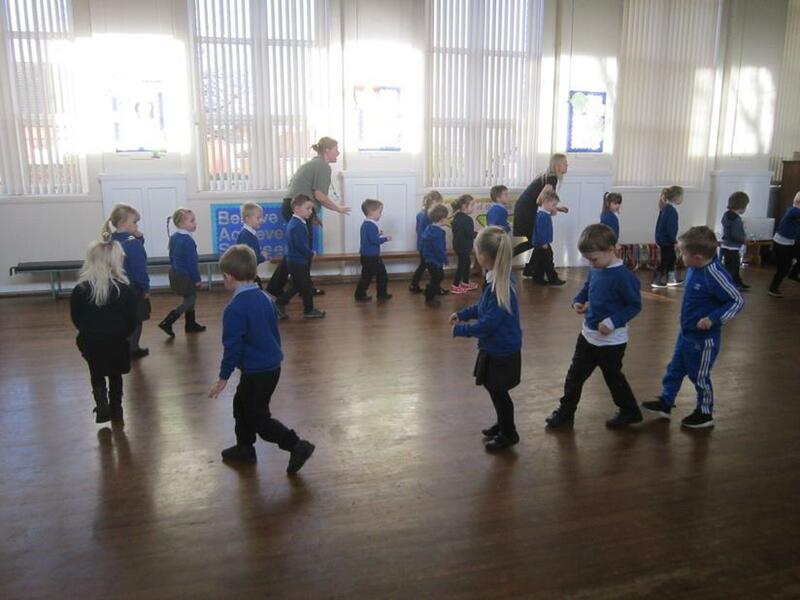 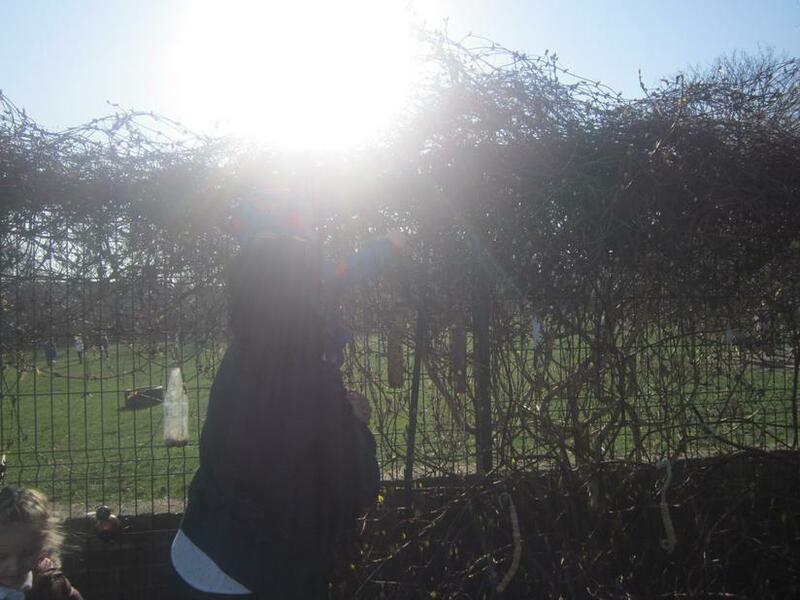 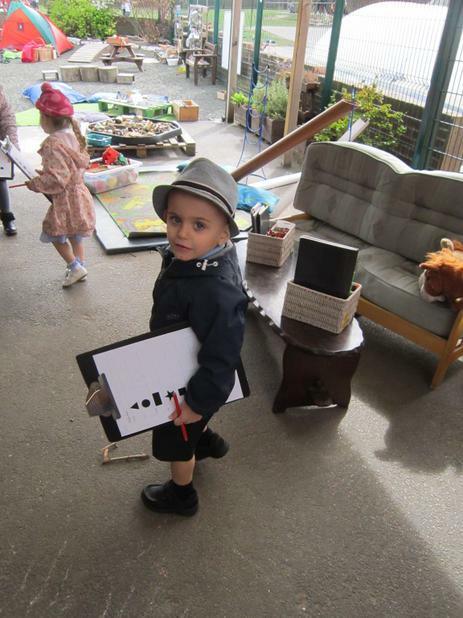 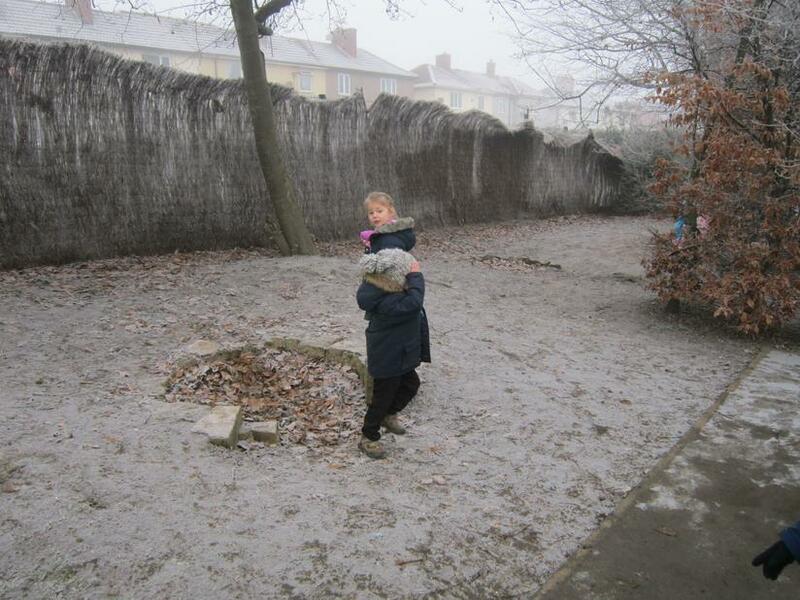 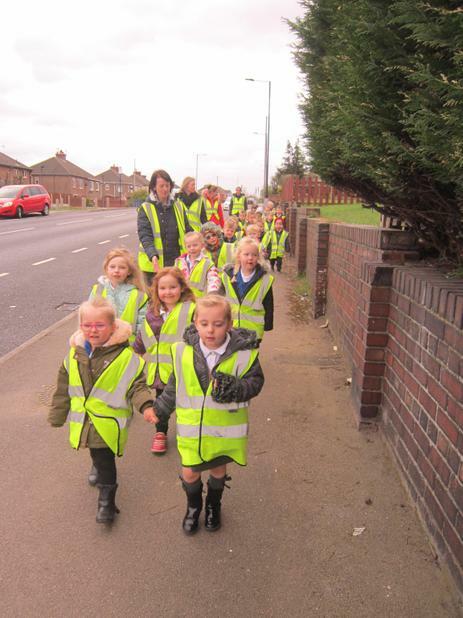 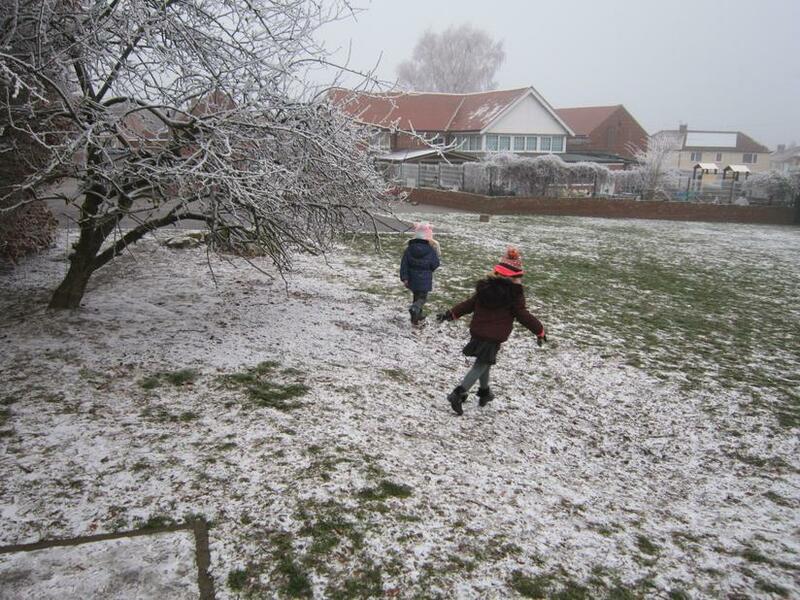 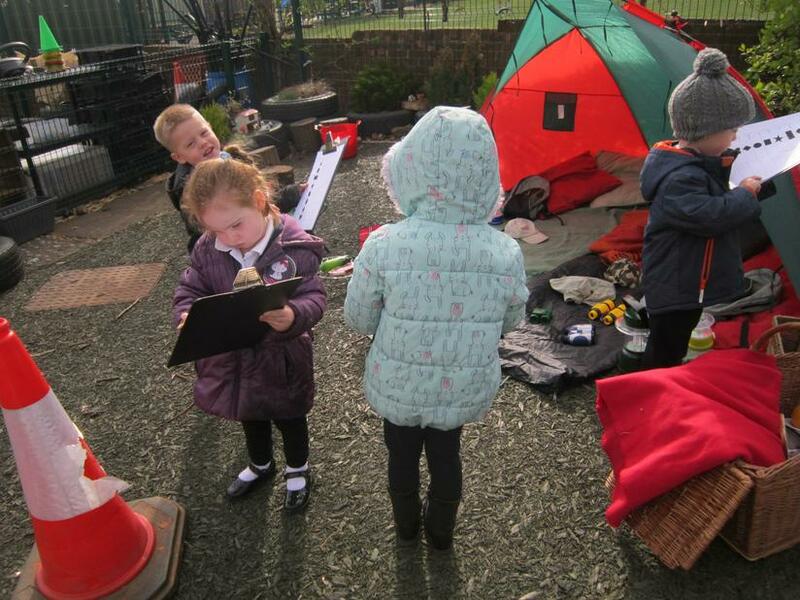 Our shapes in the environment hunt. 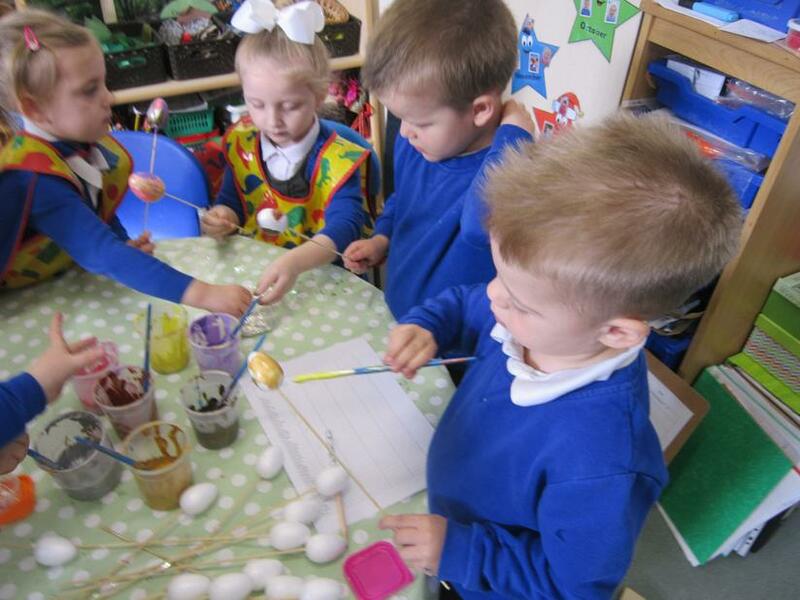 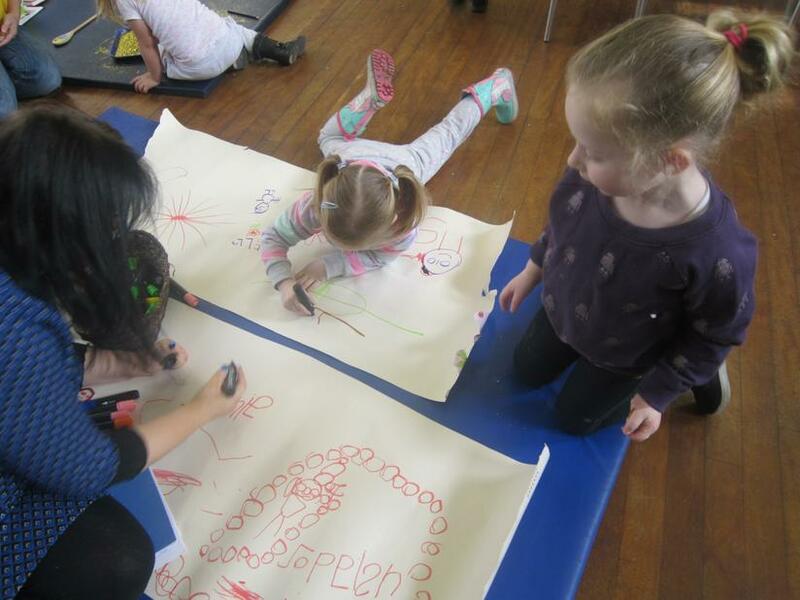 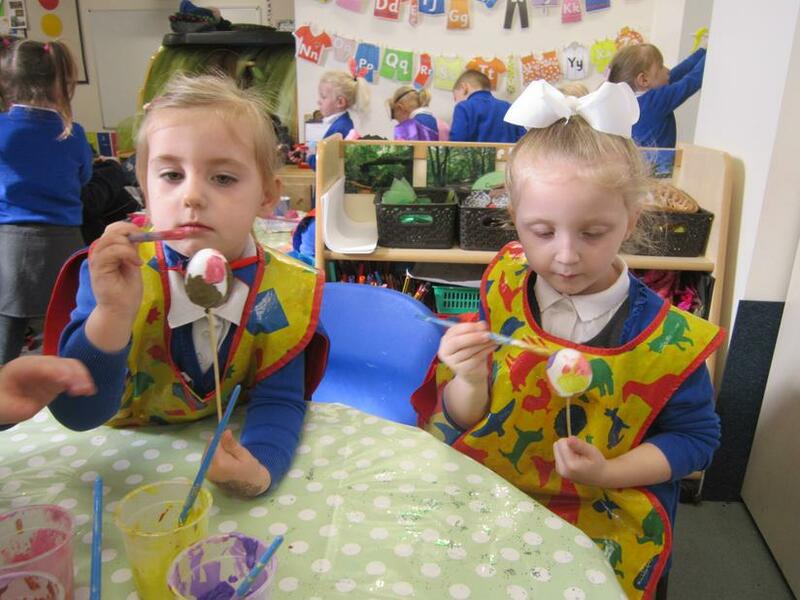 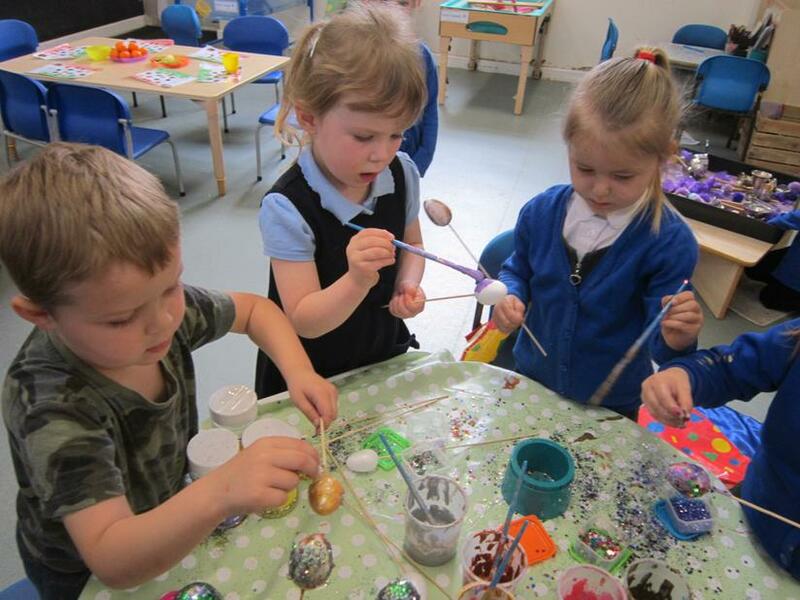 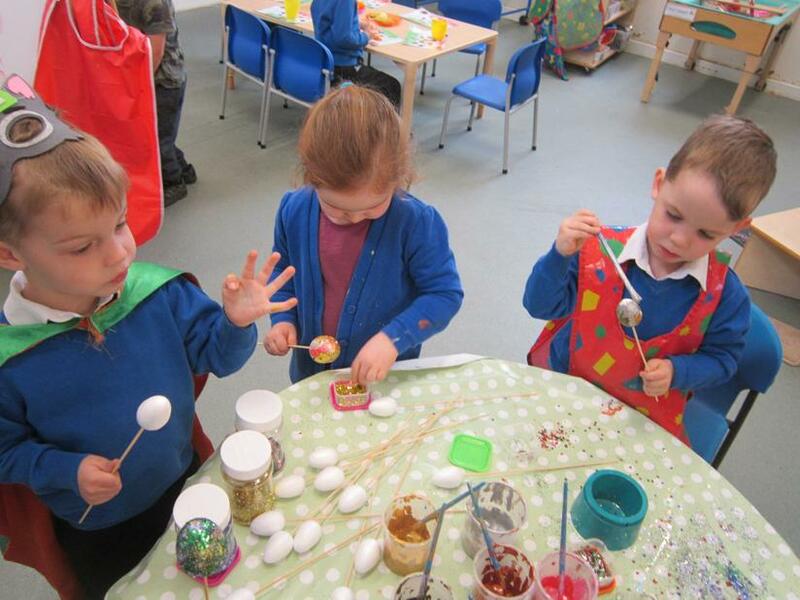 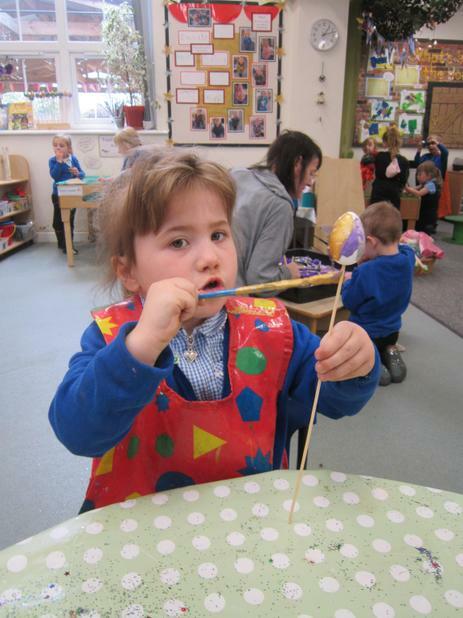 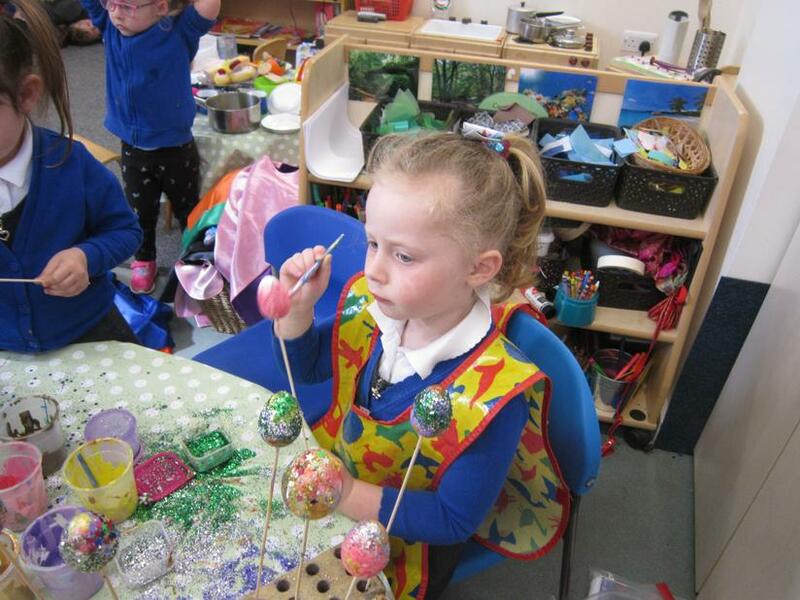 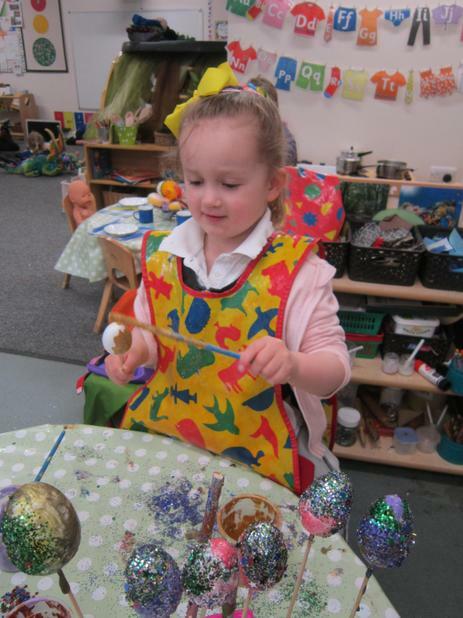 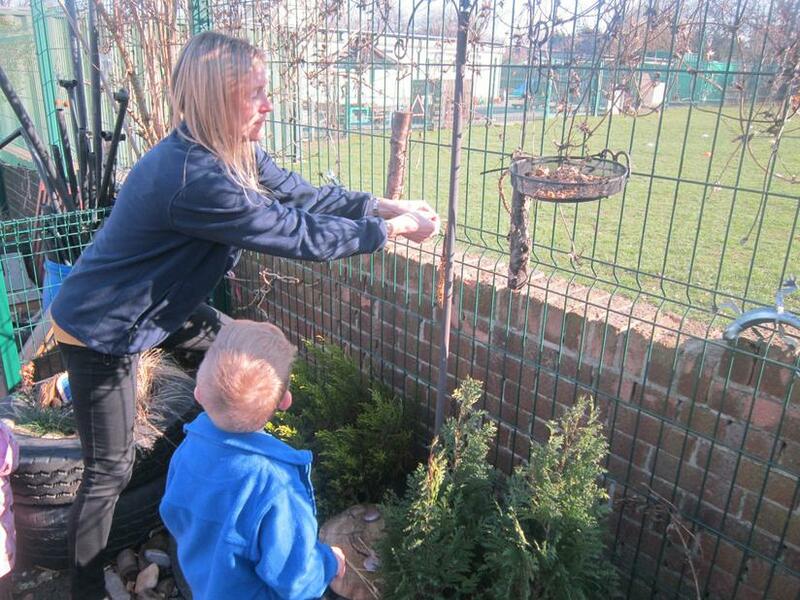 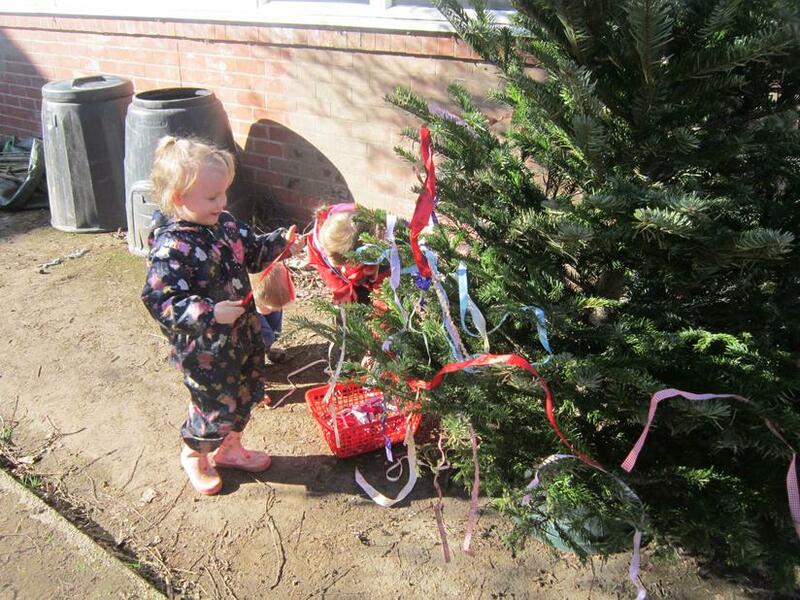 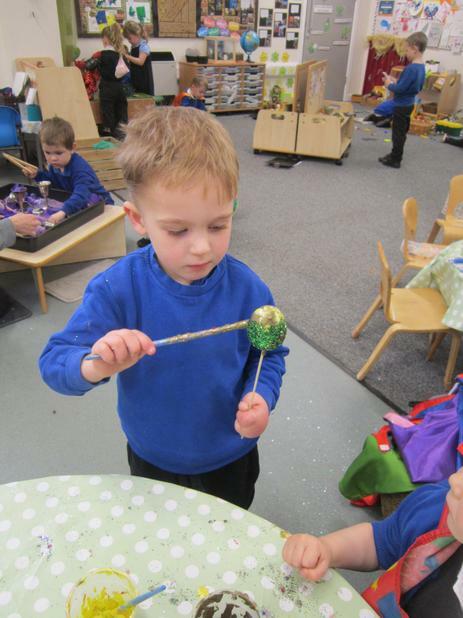 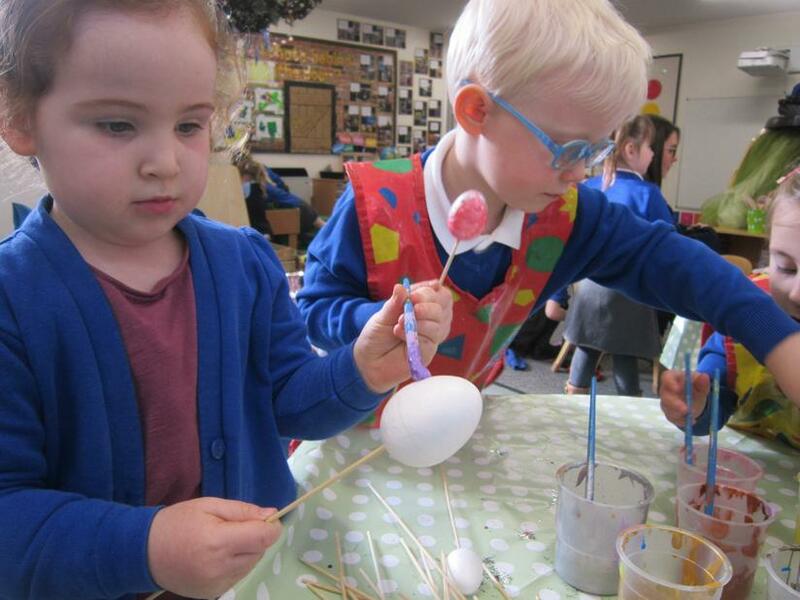 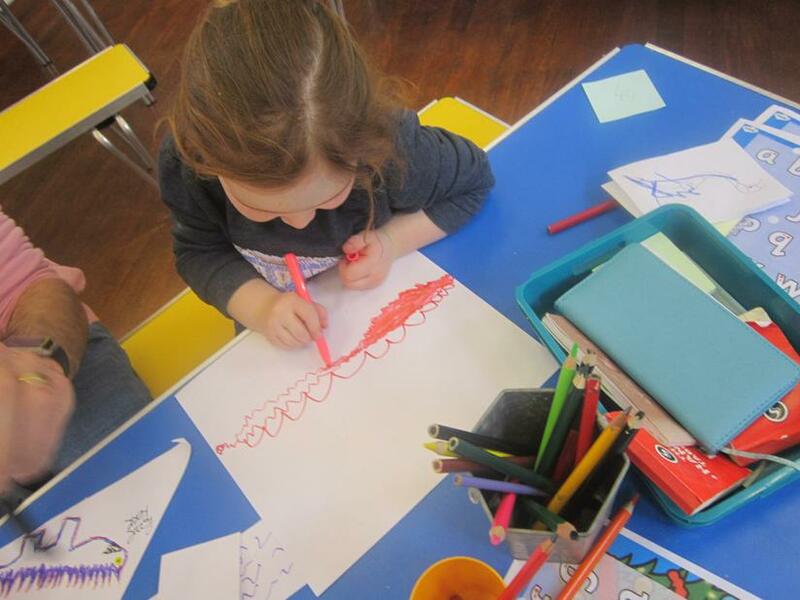 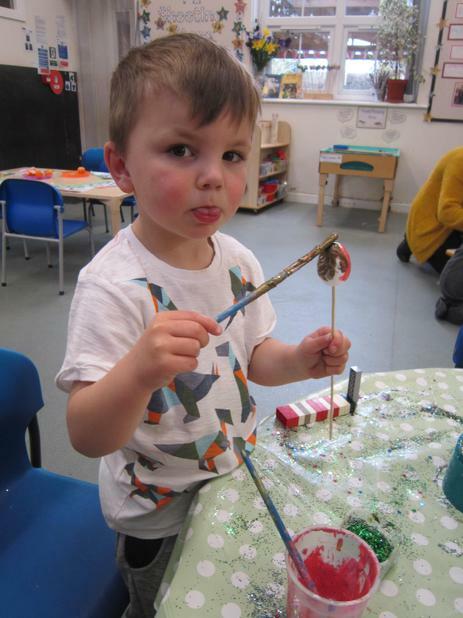 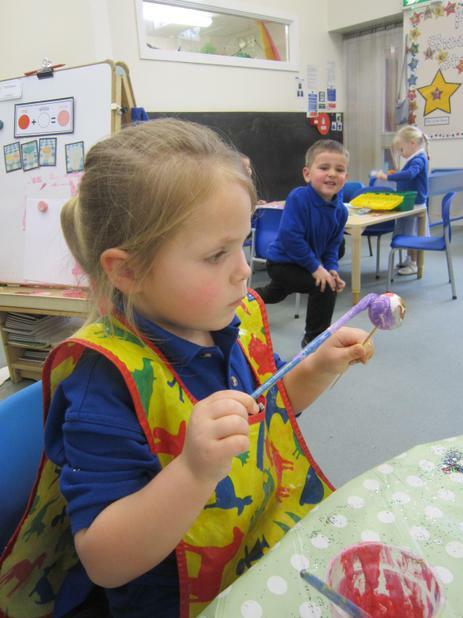 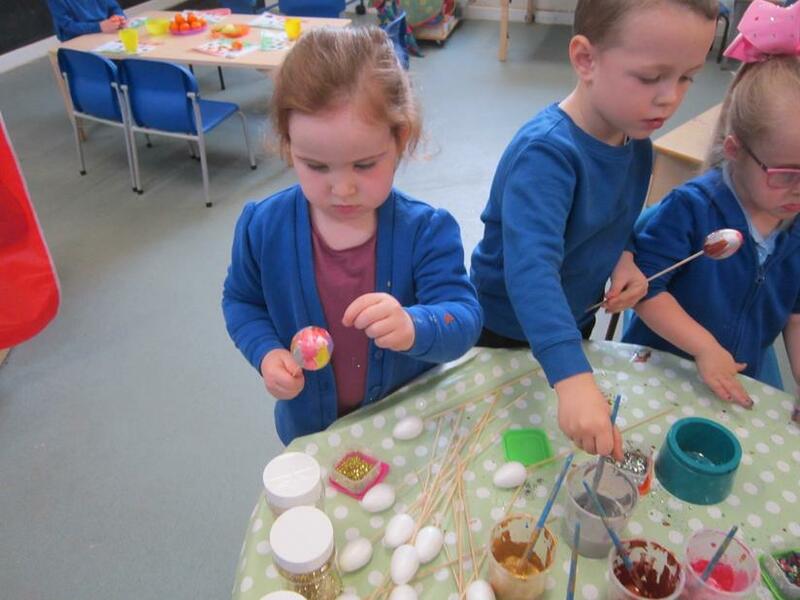 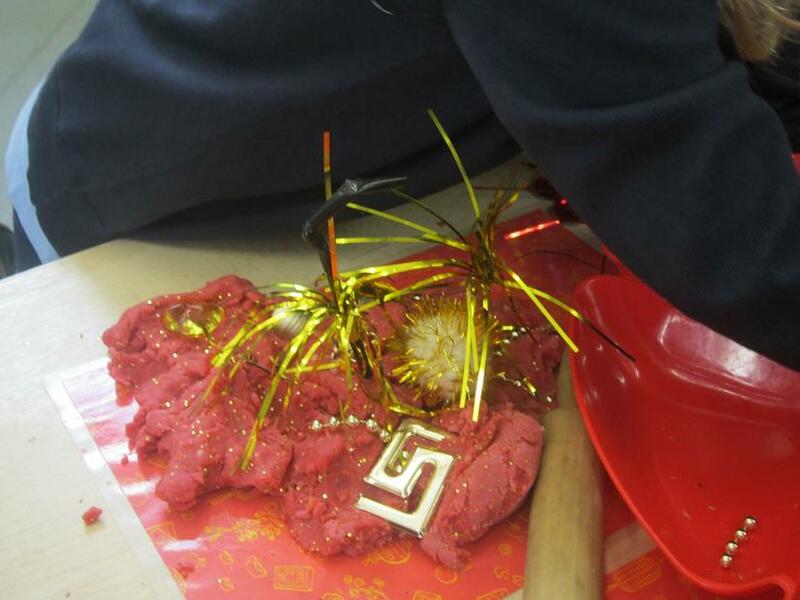 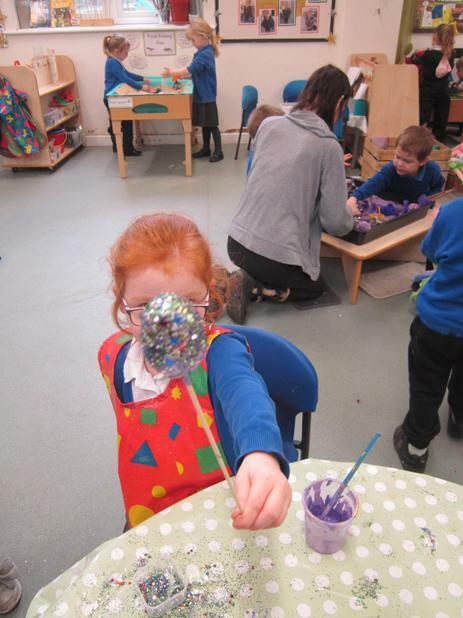 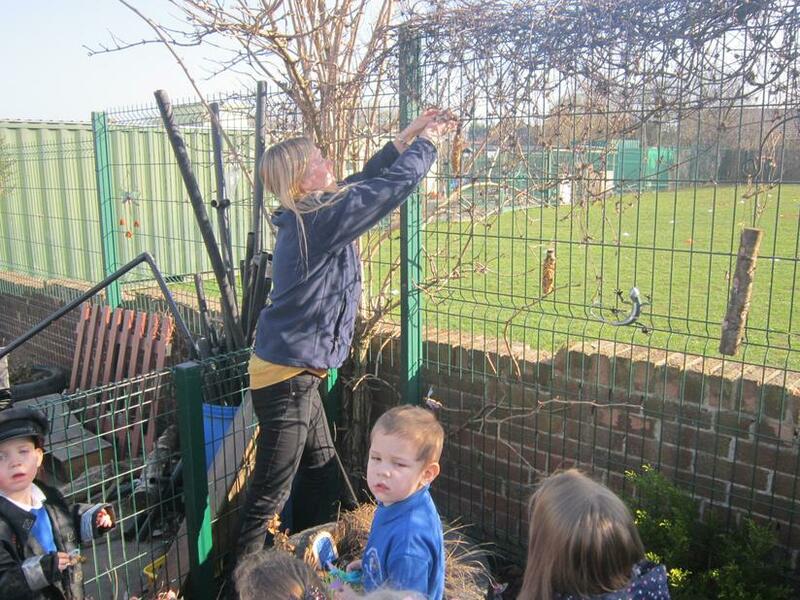 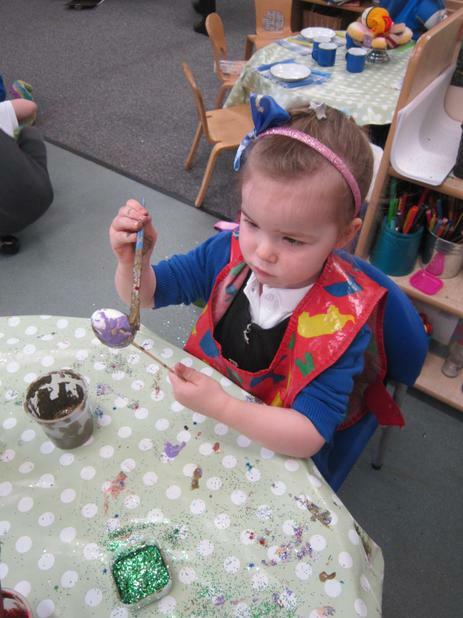 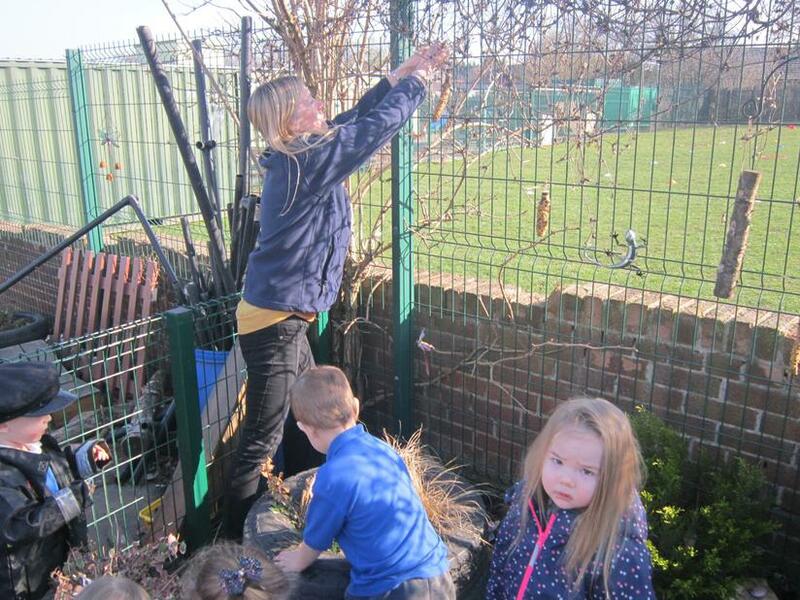 Adding a bit more magic to the children's wands and decorating dragon eggs ready for our dragon egg hunt. 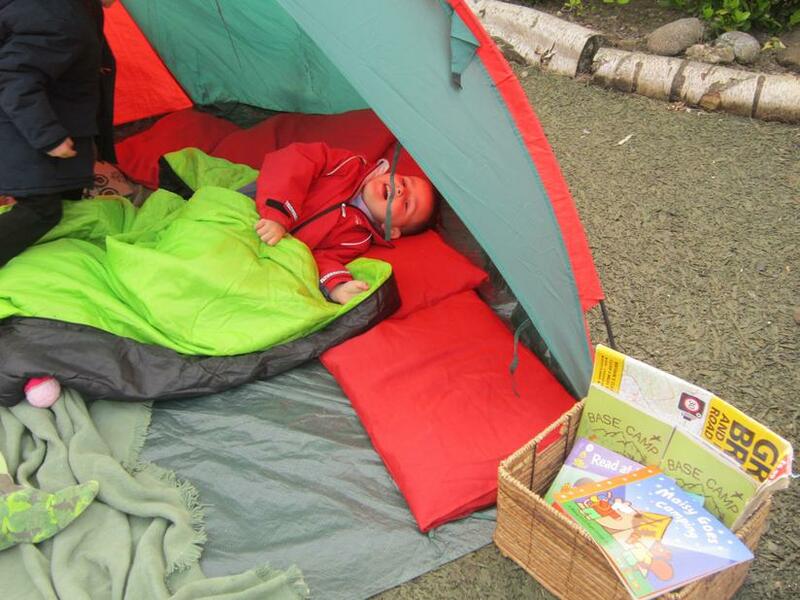 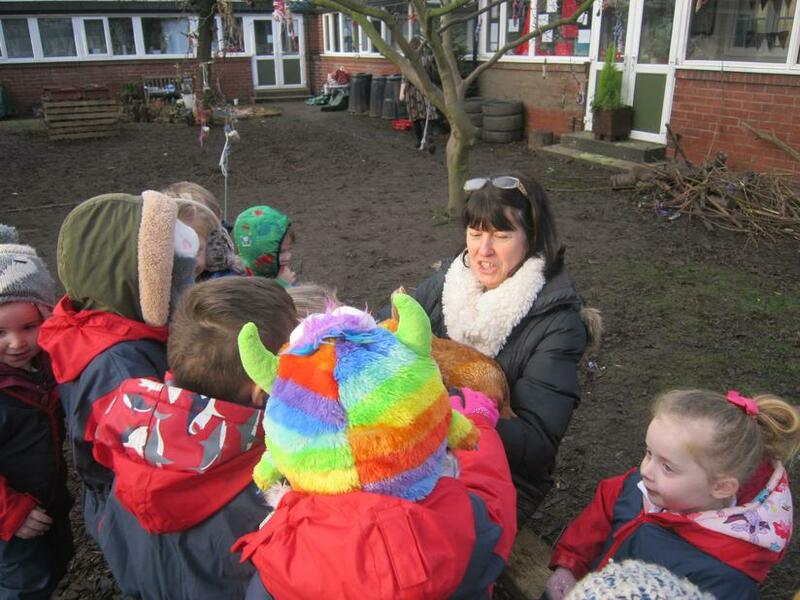 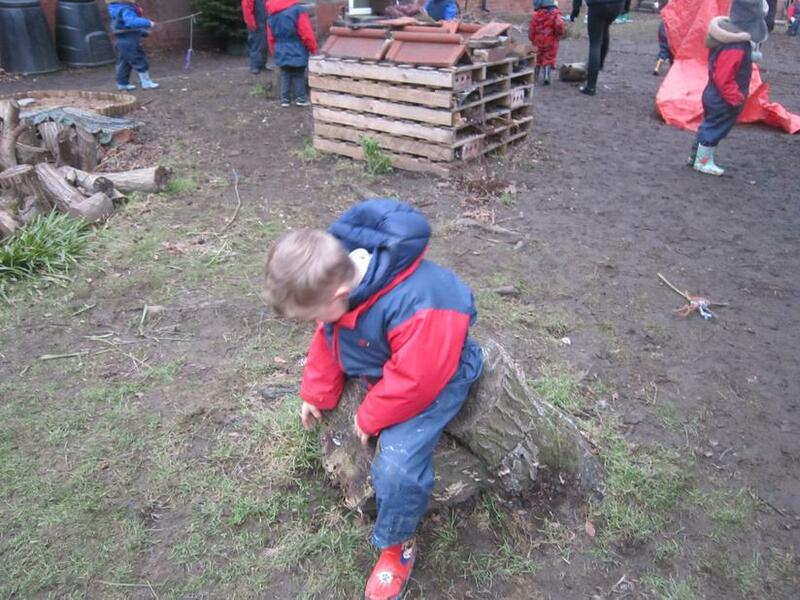 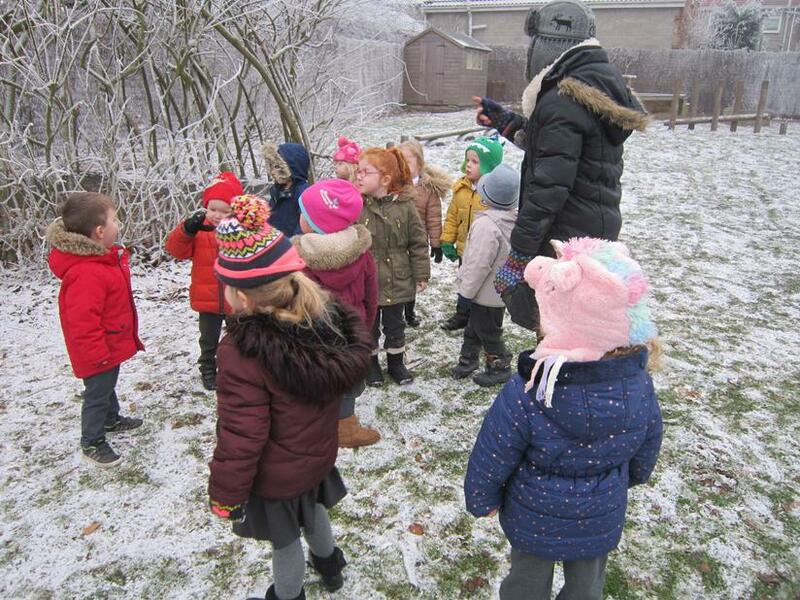 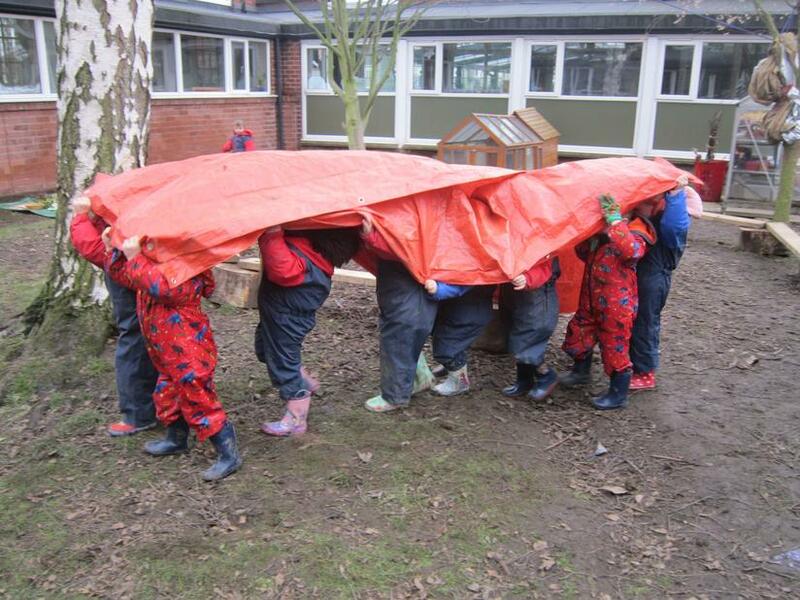 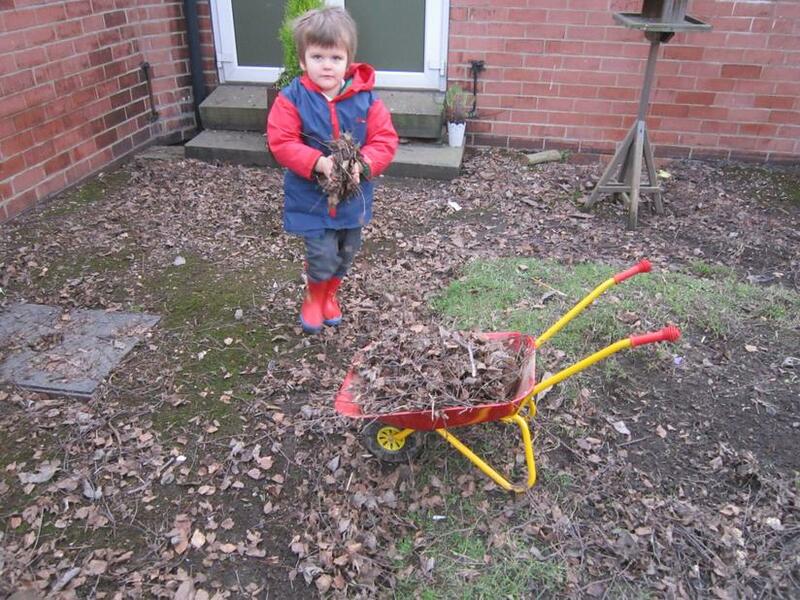 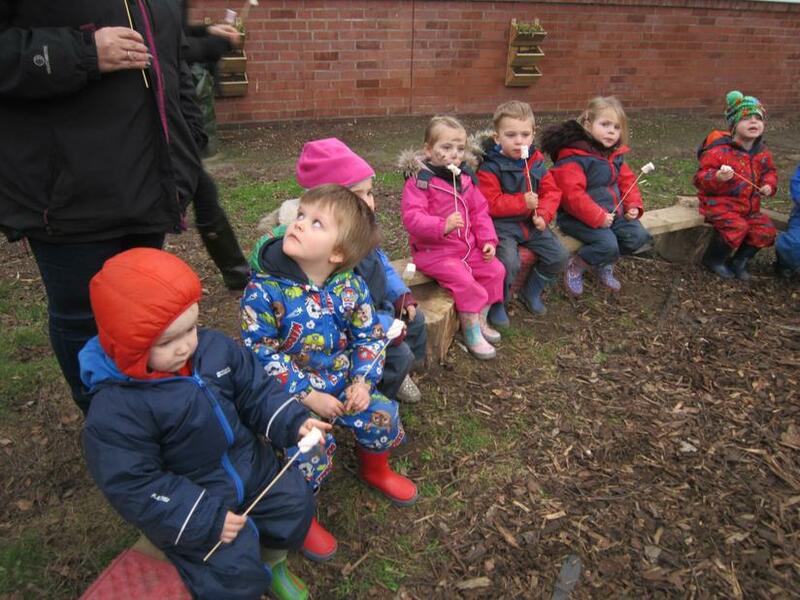 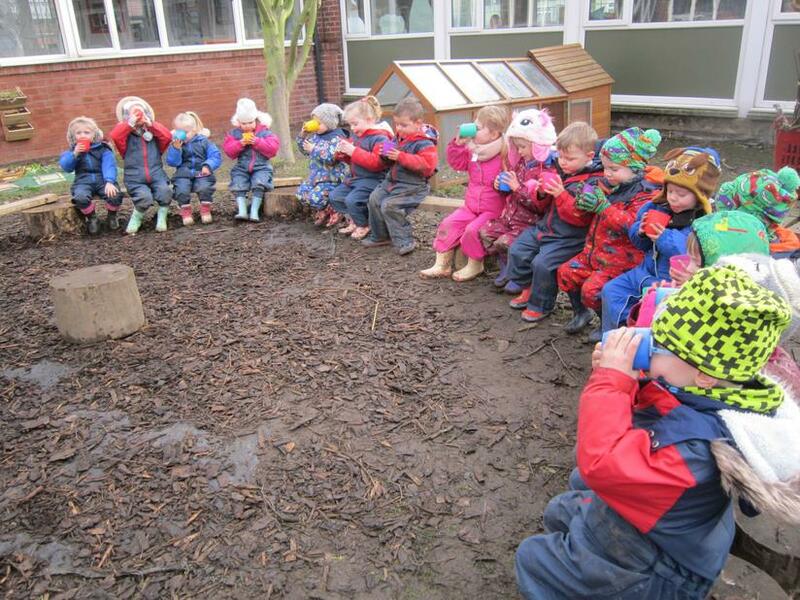 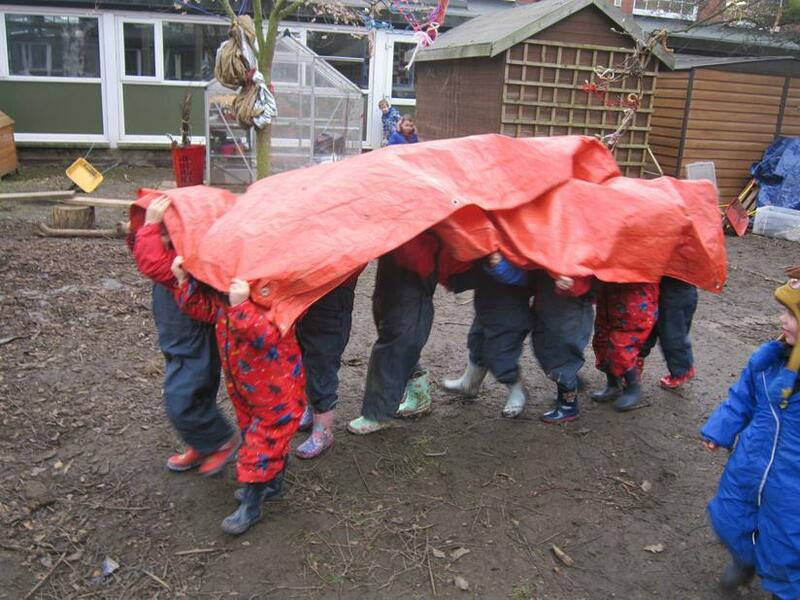 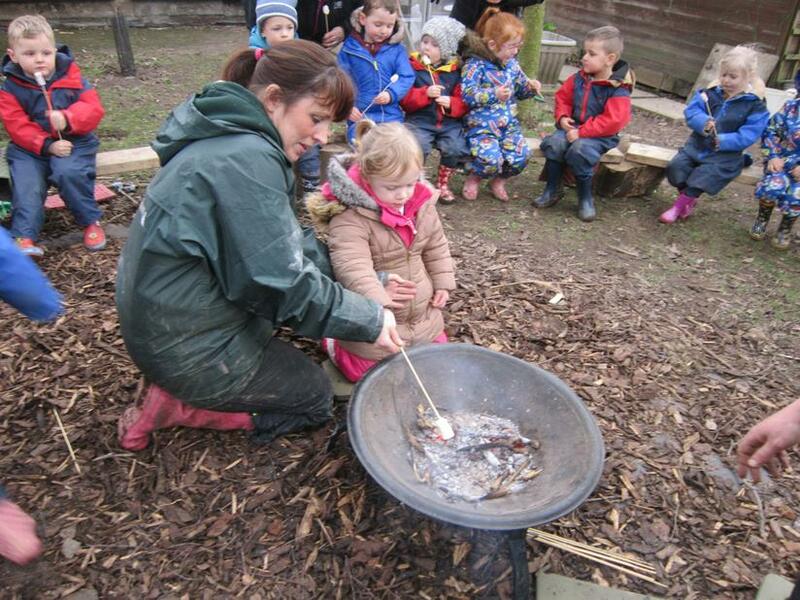 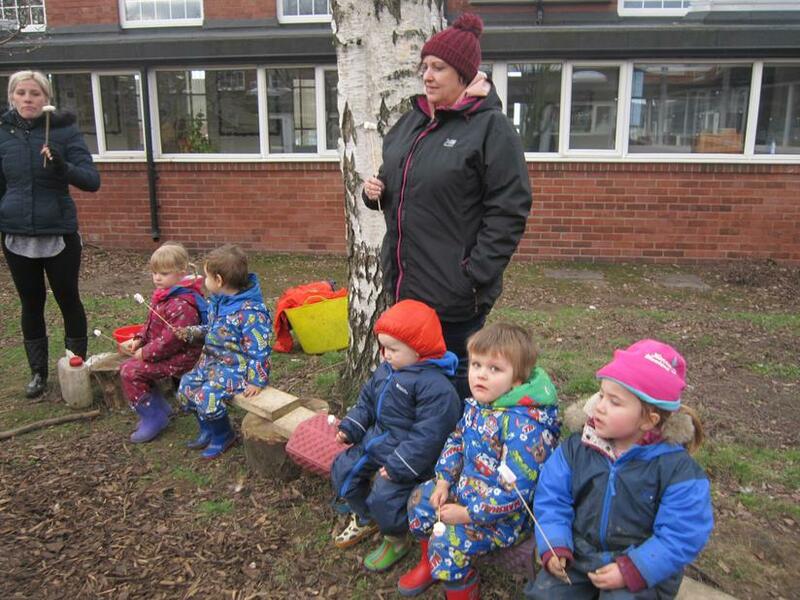 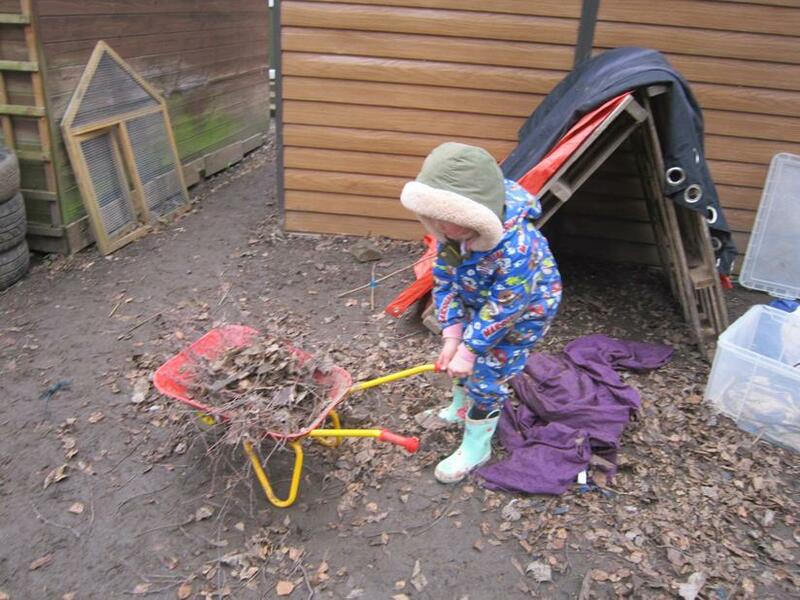 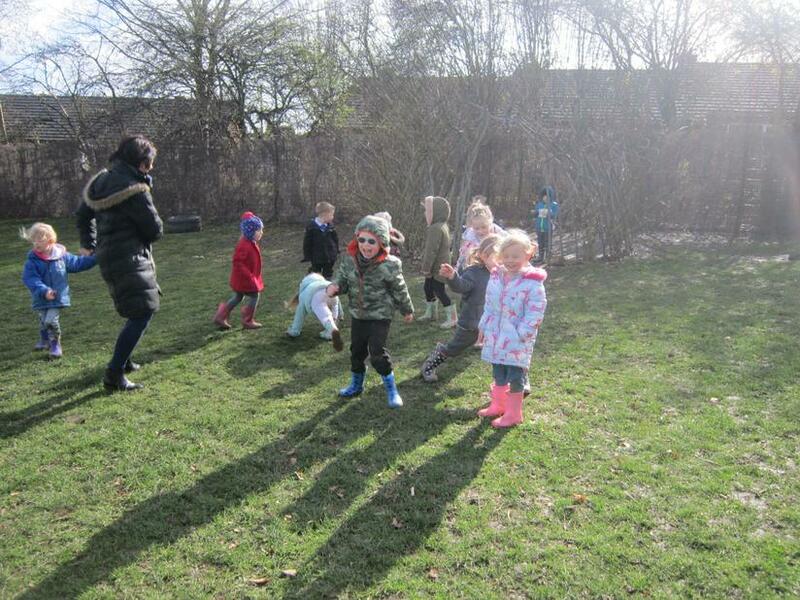 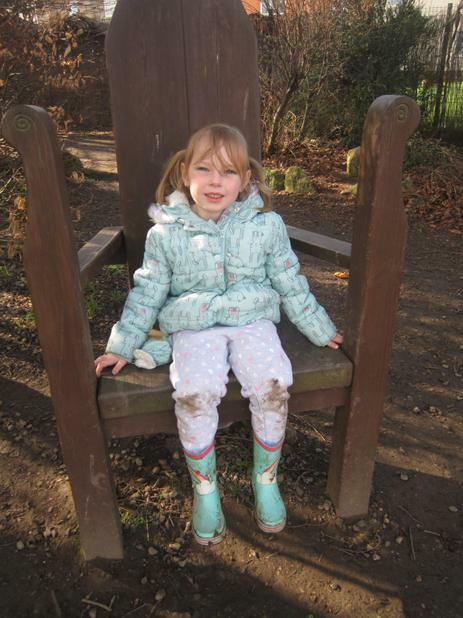 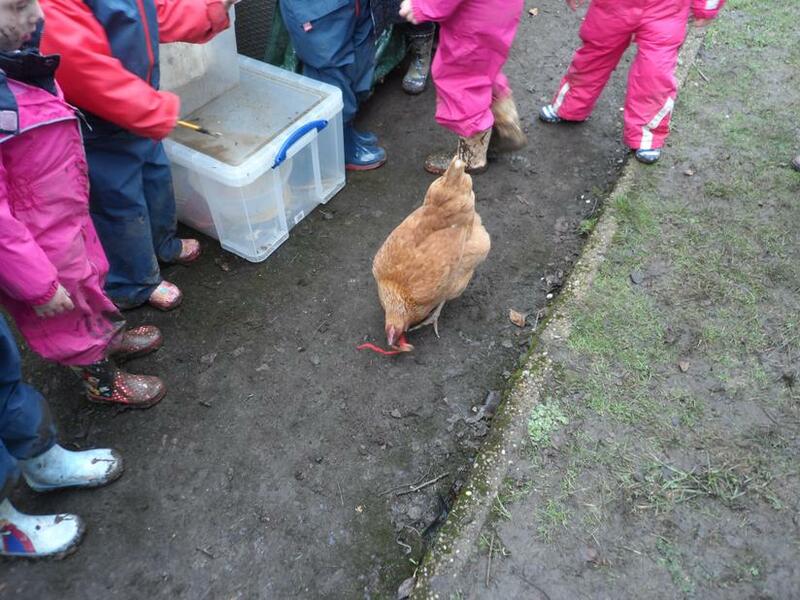 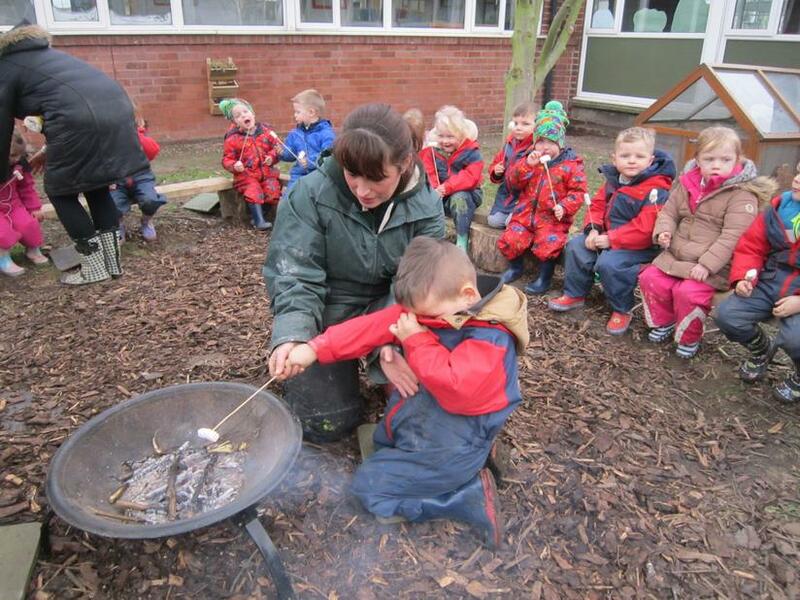 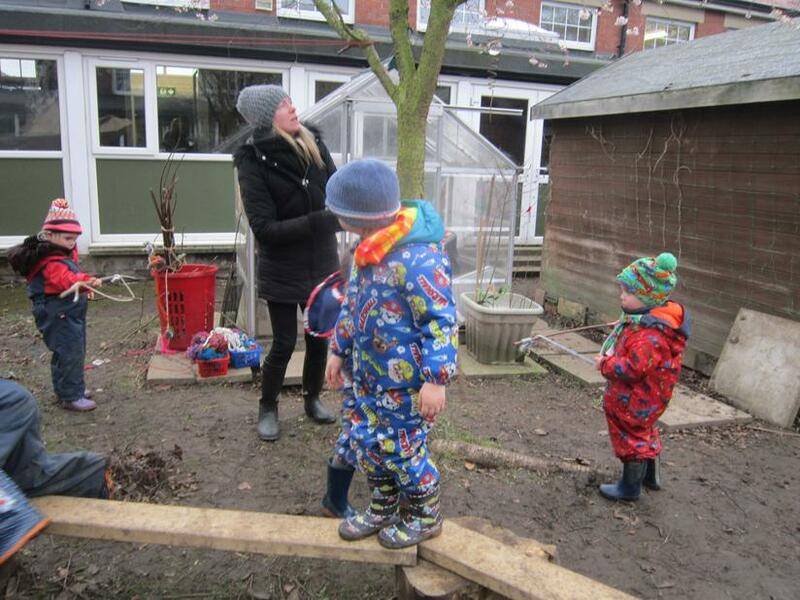 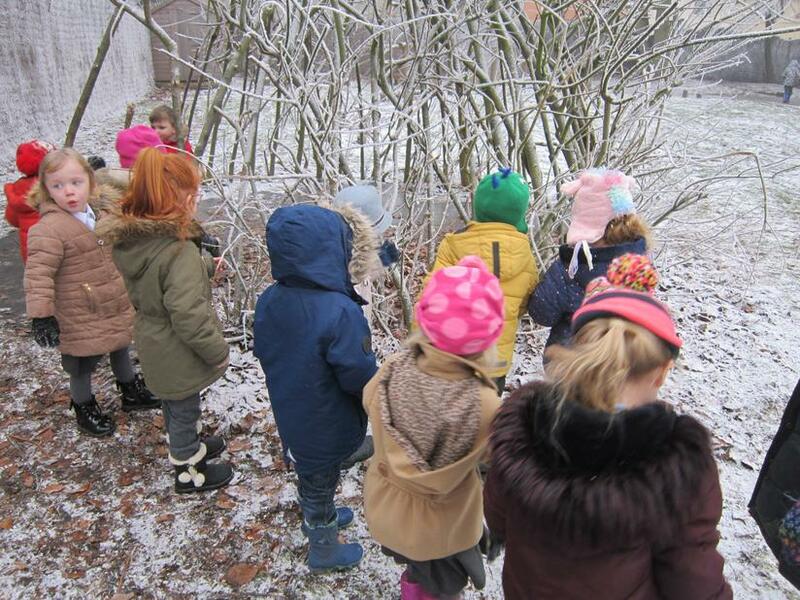 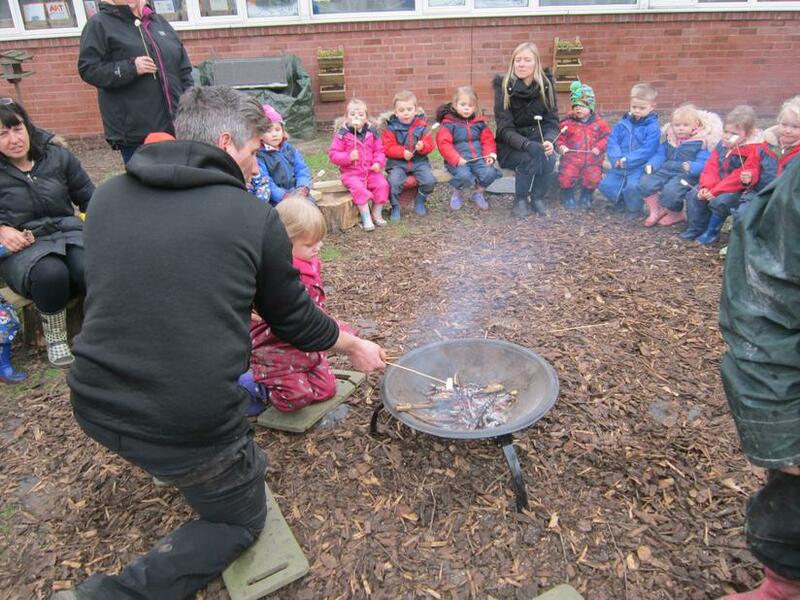 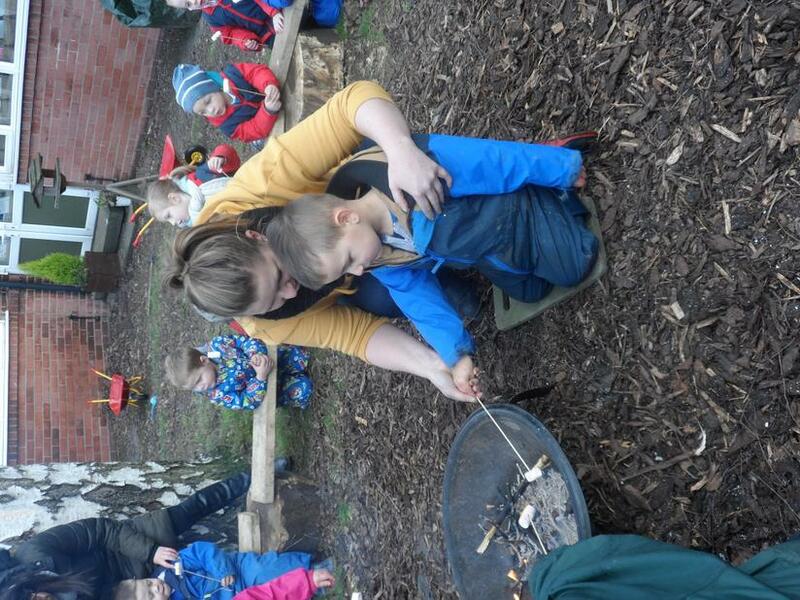 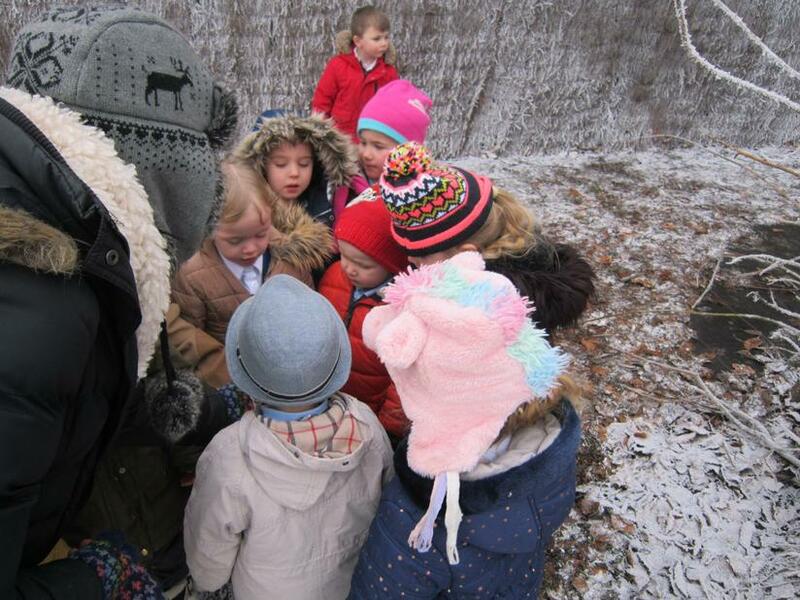 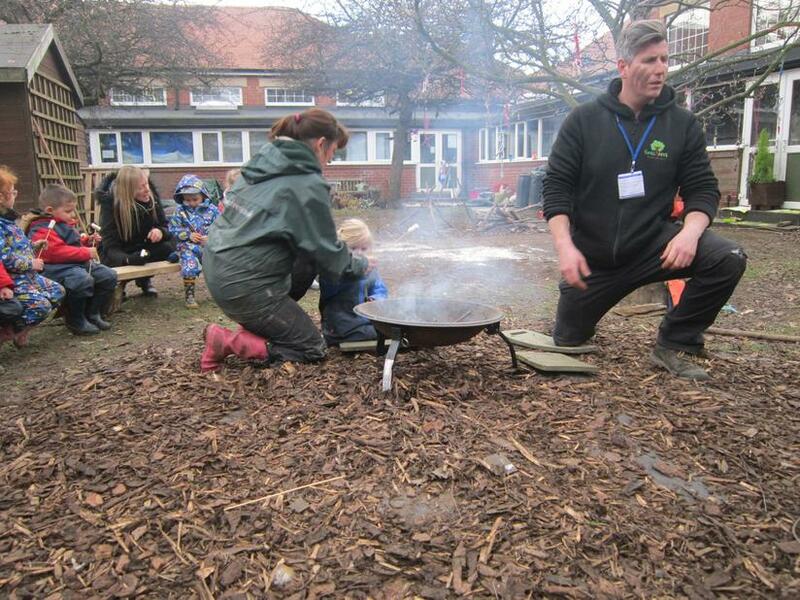 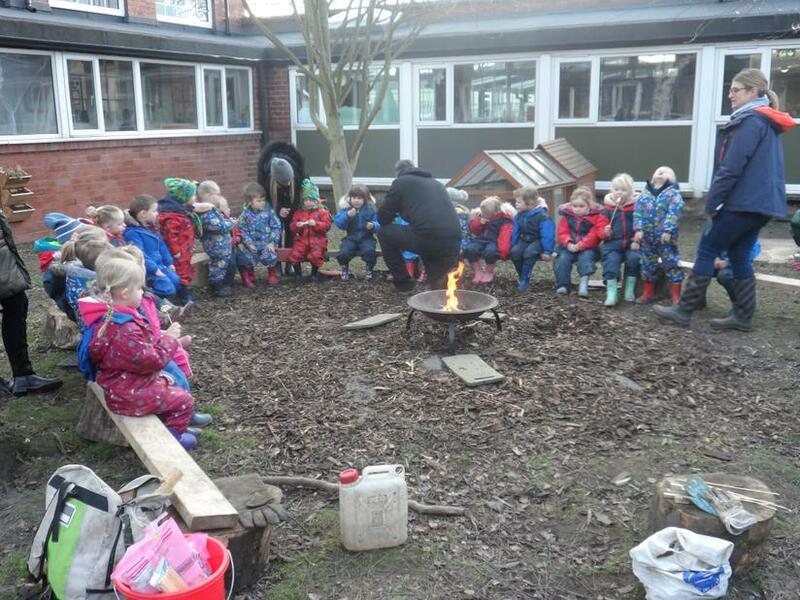 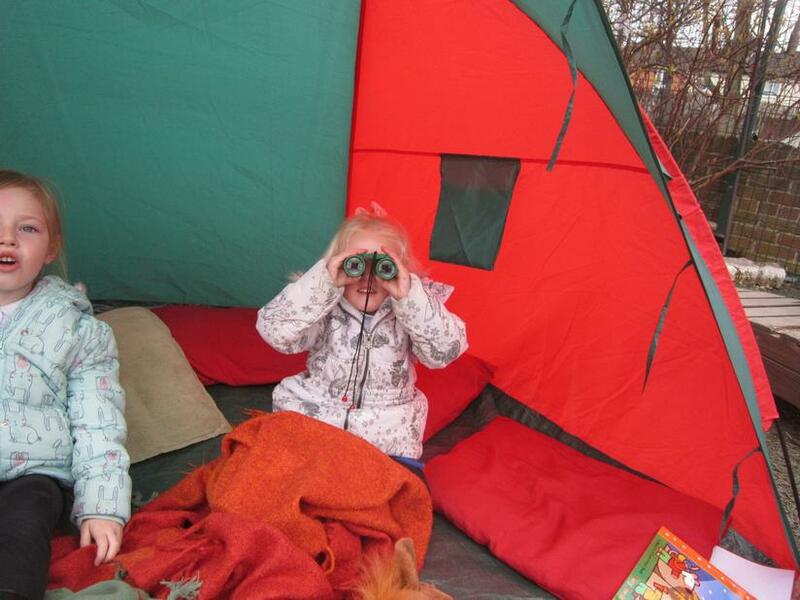 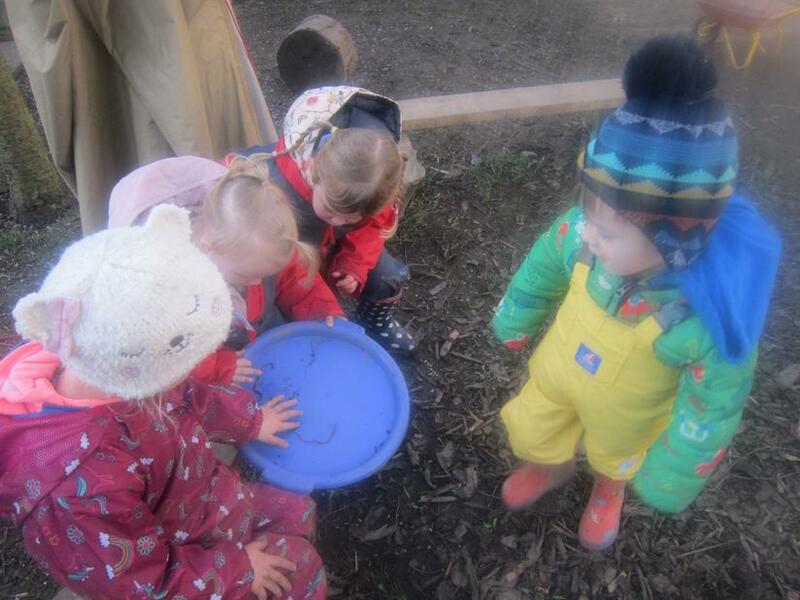 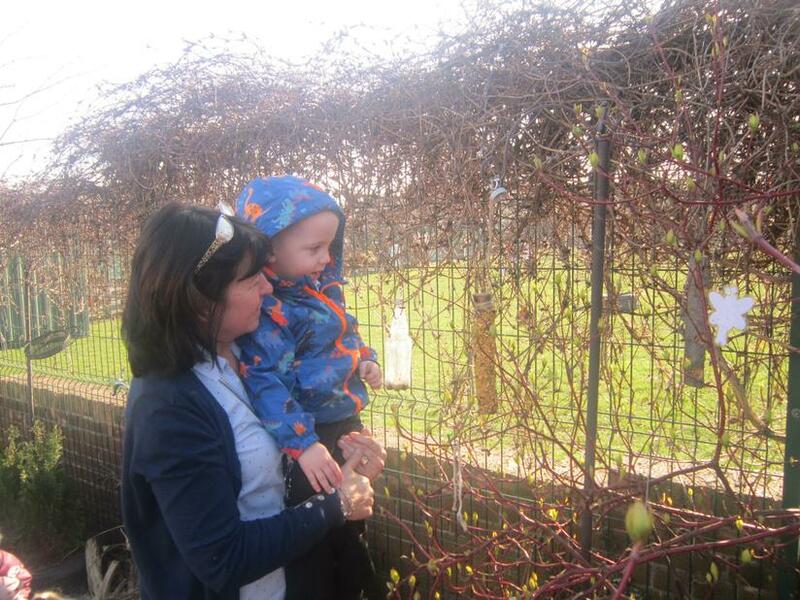 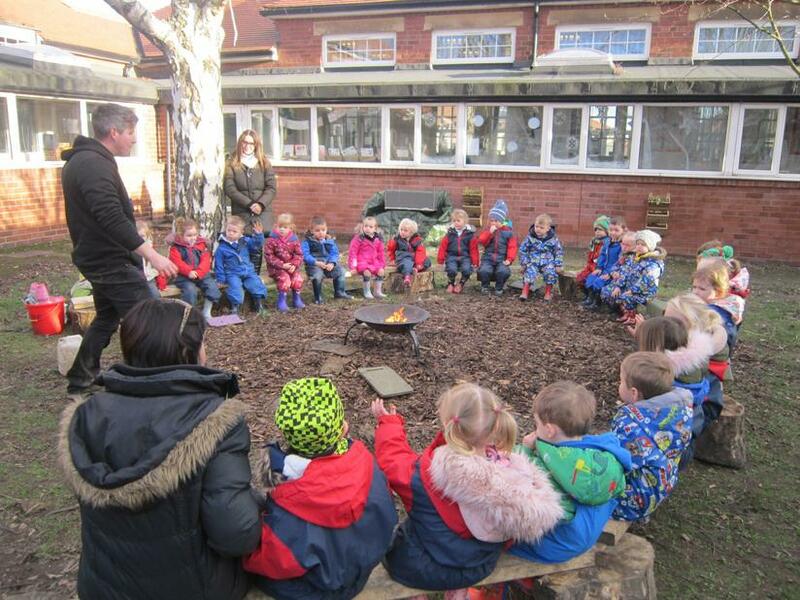 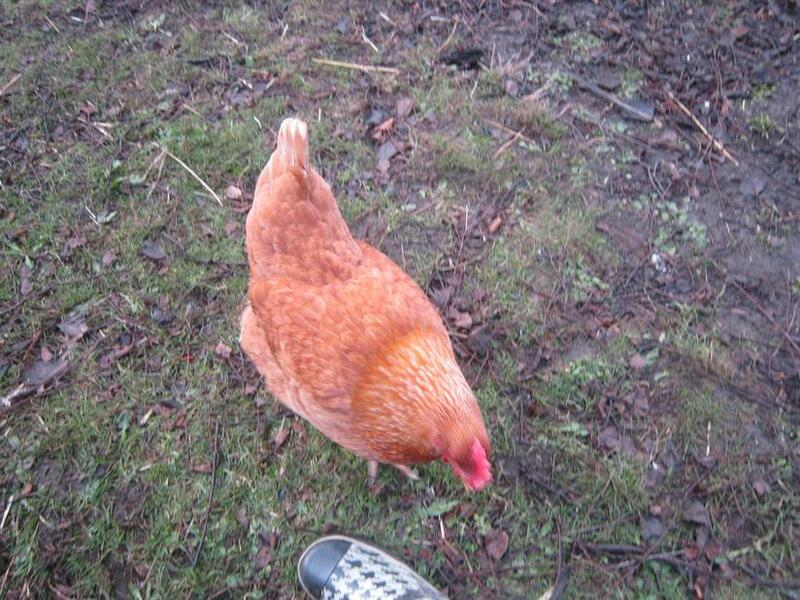 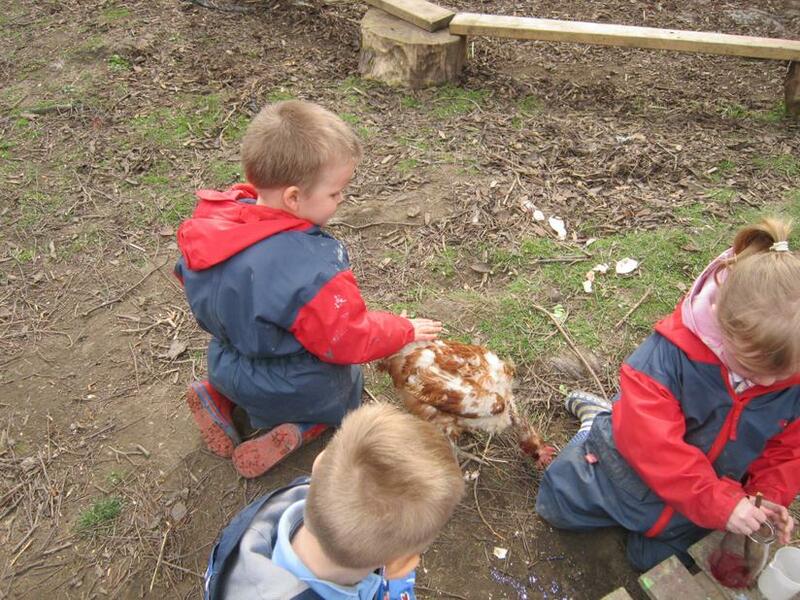 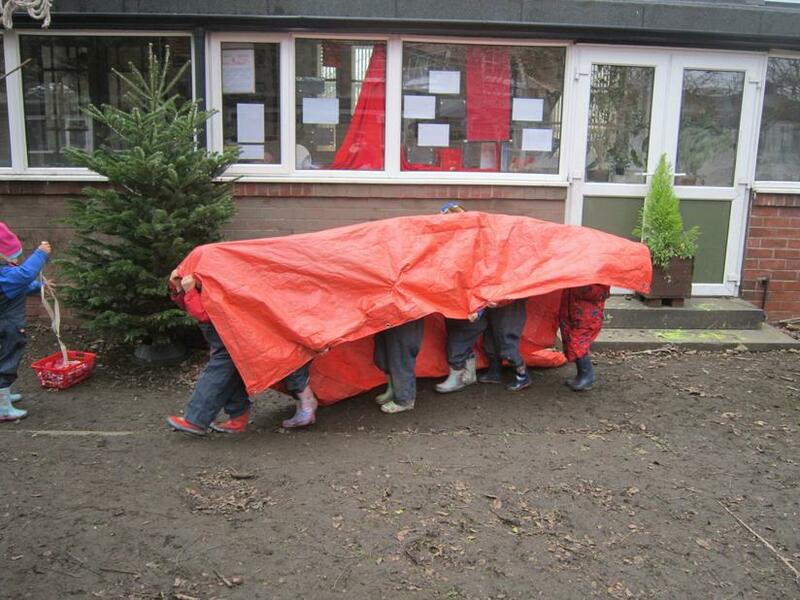 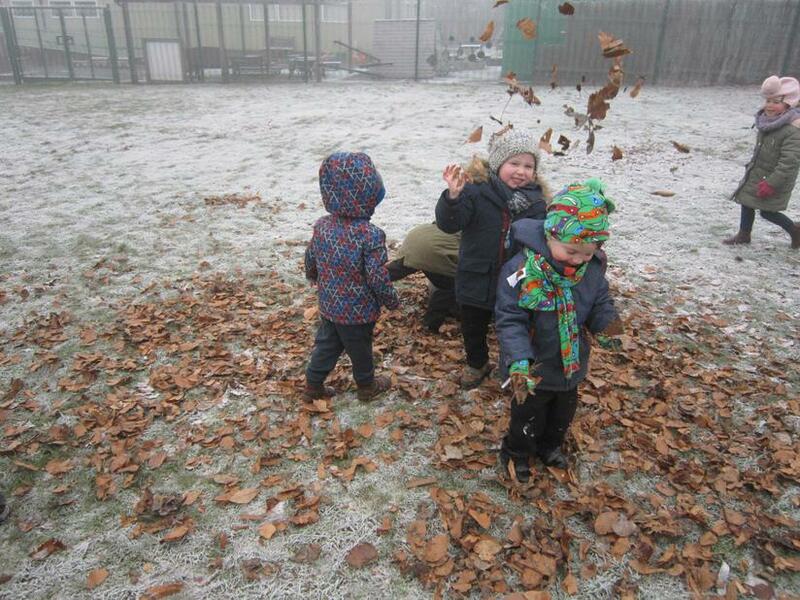 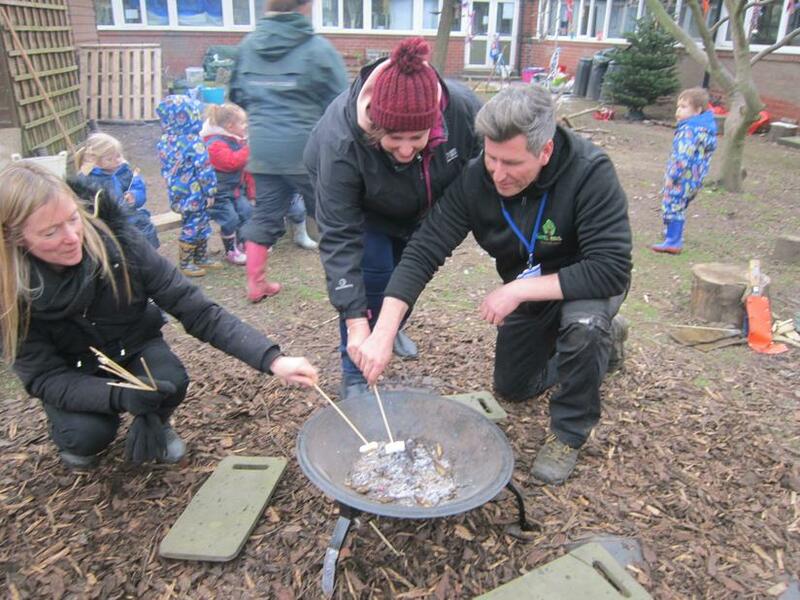 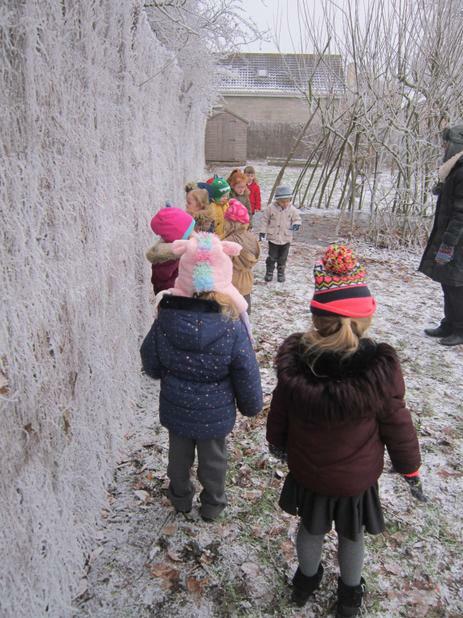 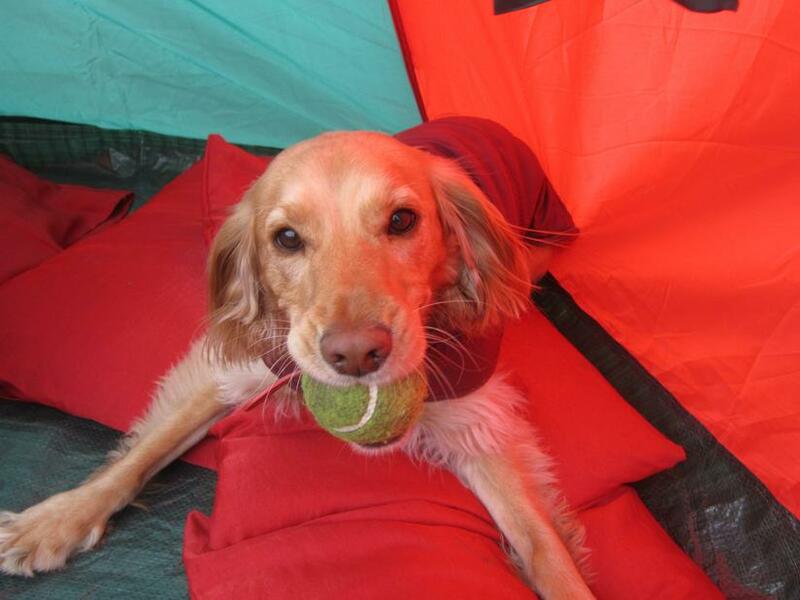 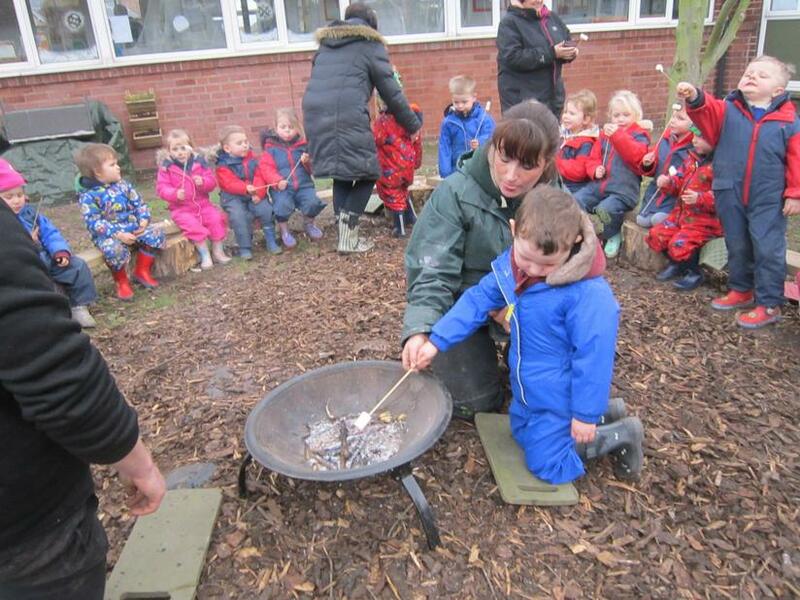 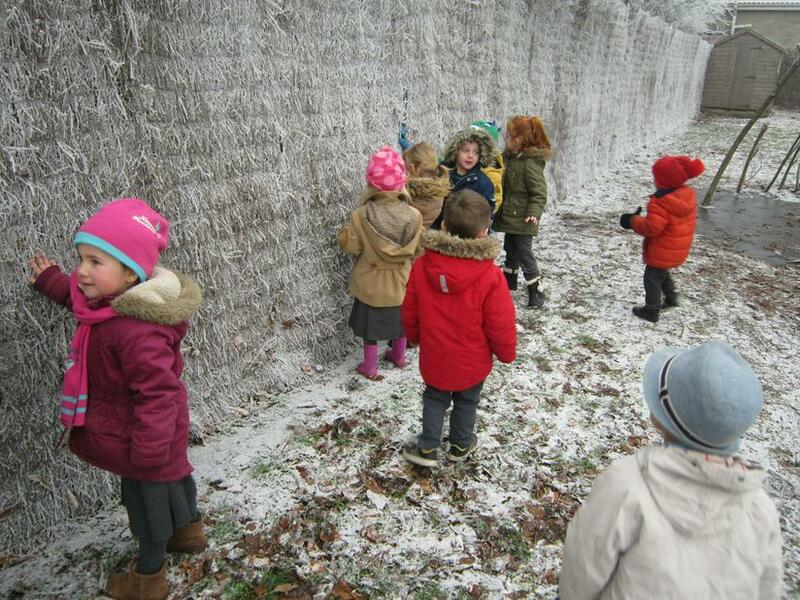 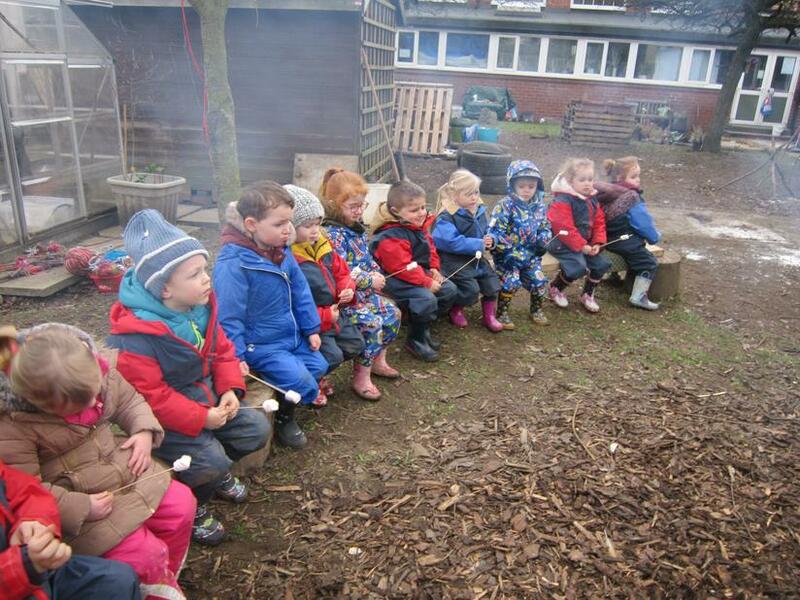 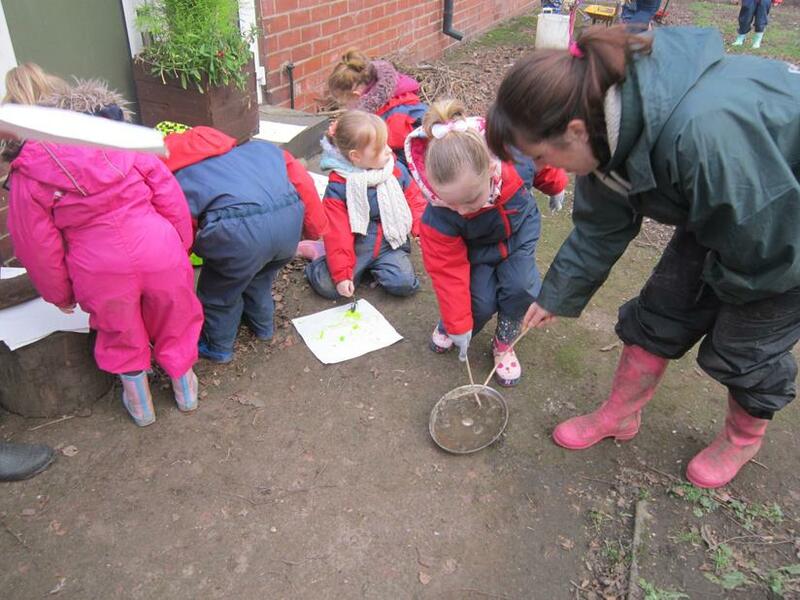 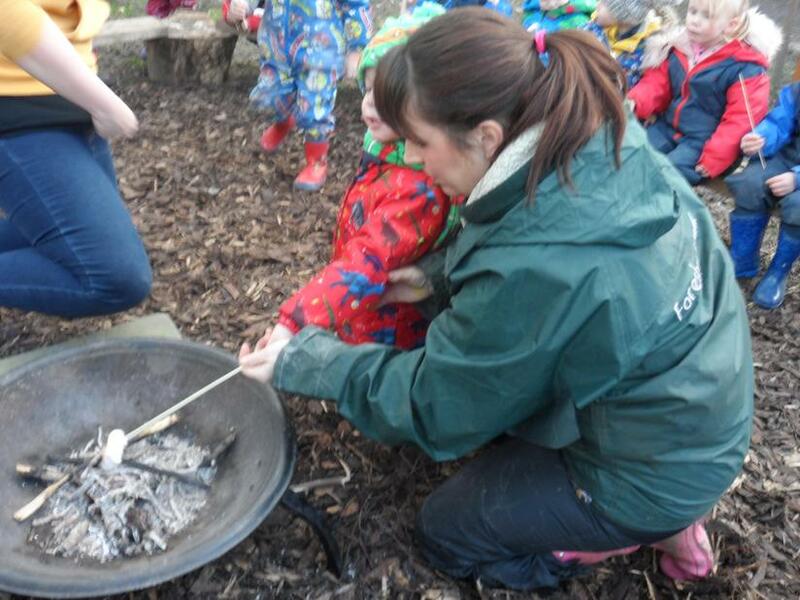 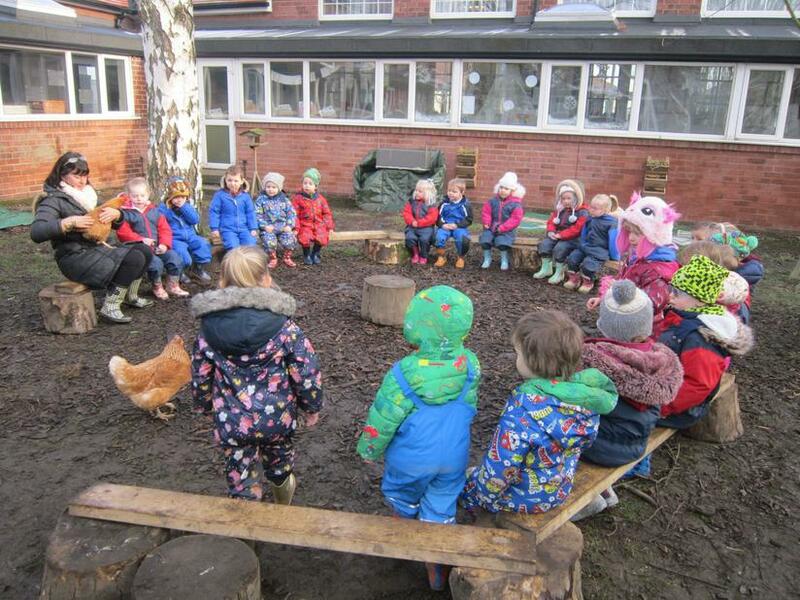 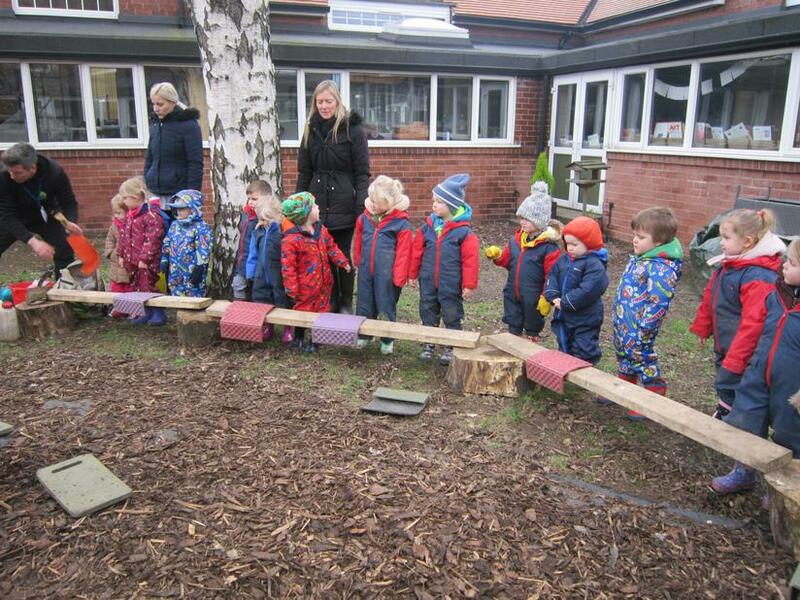 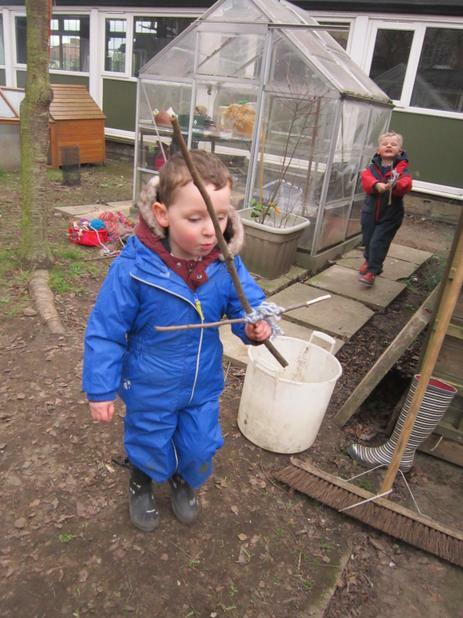 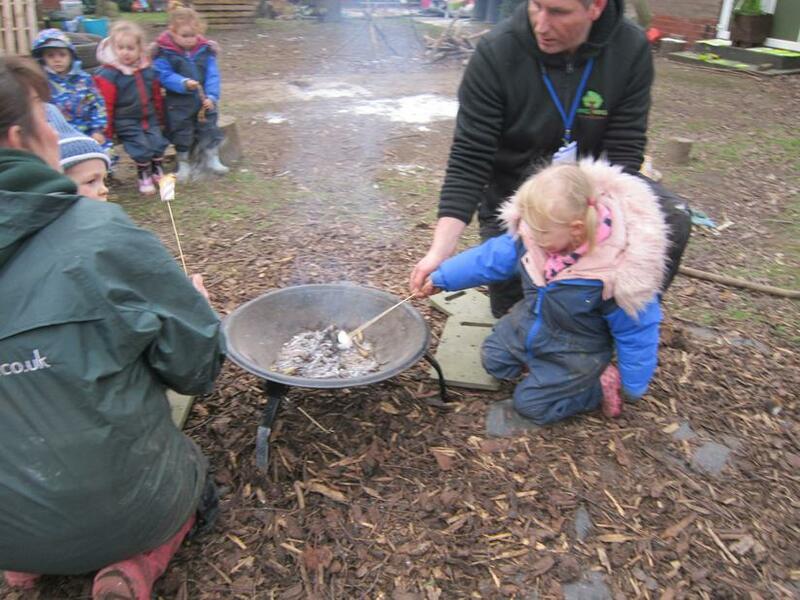 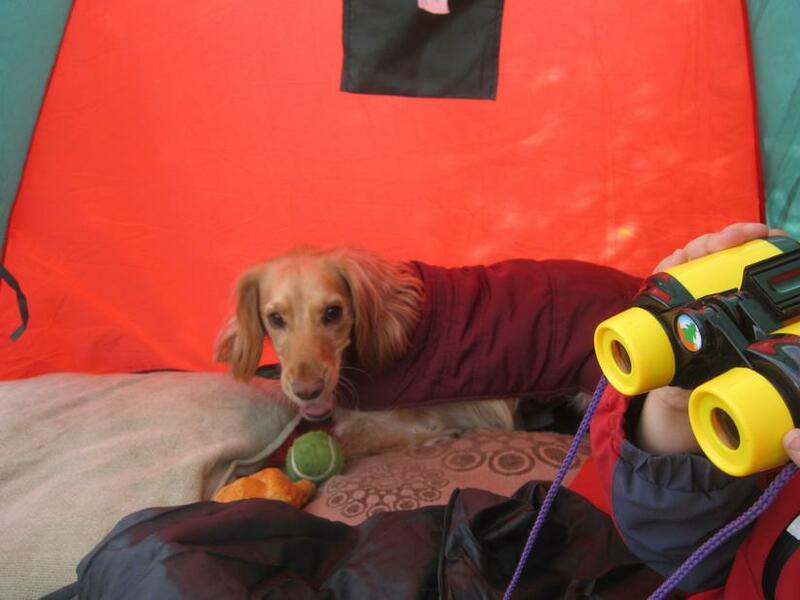 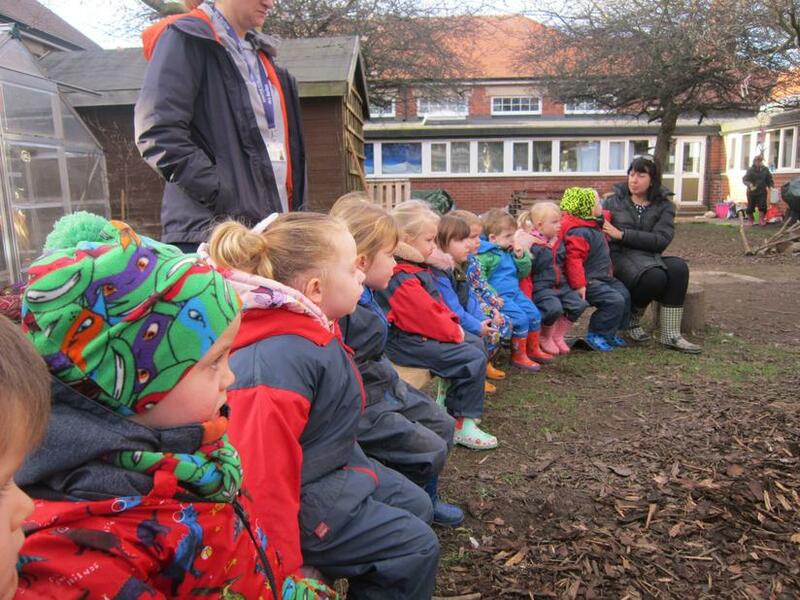 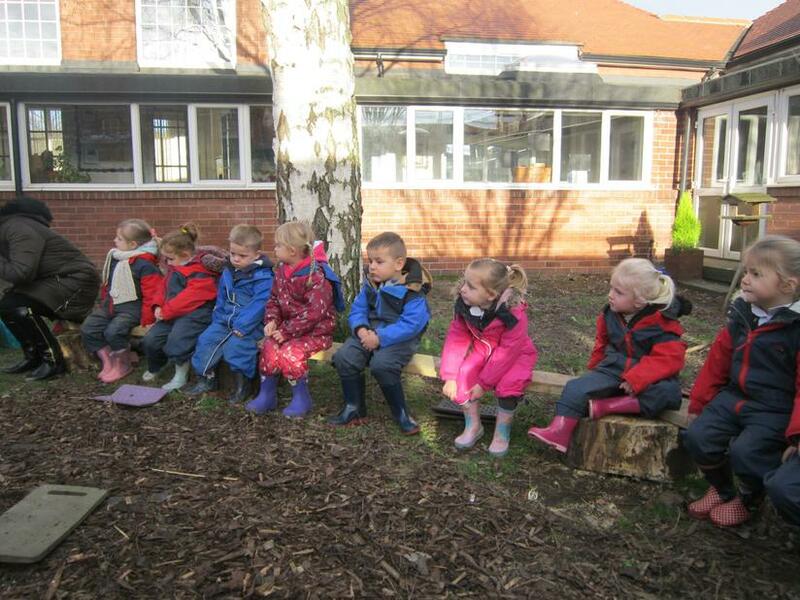 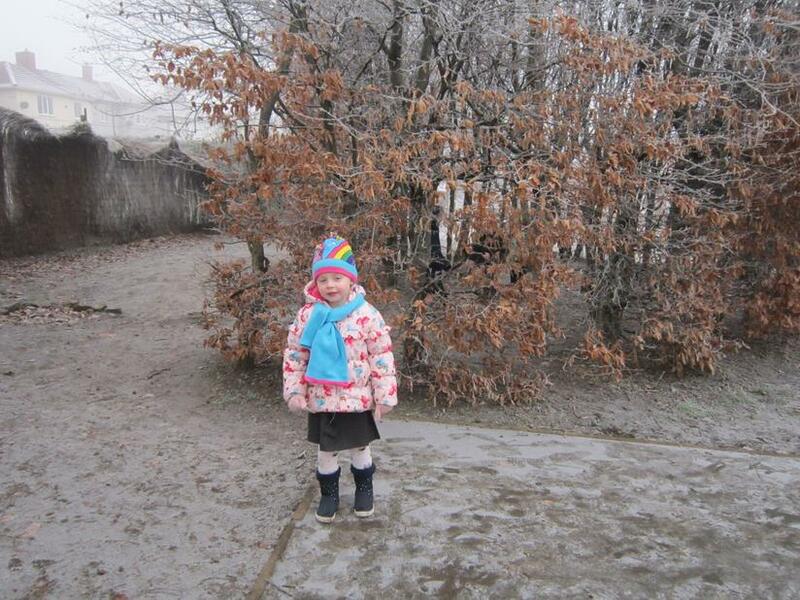 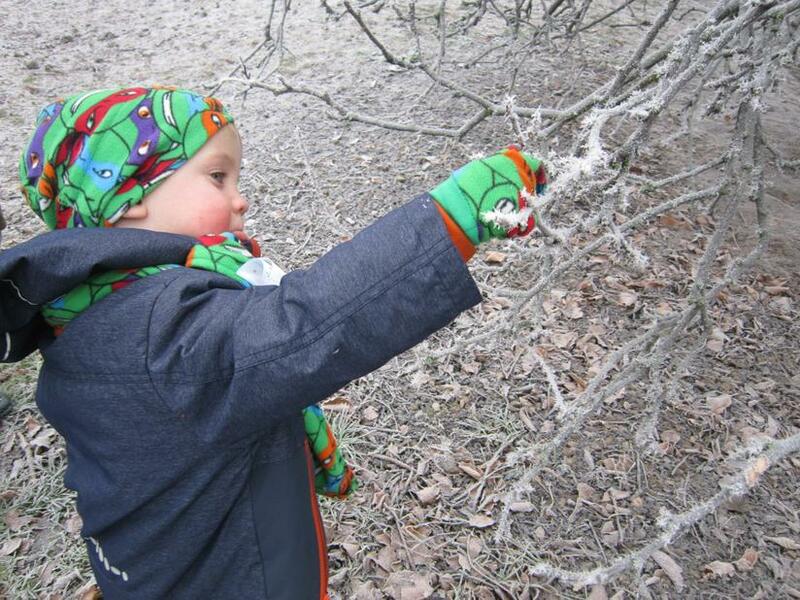 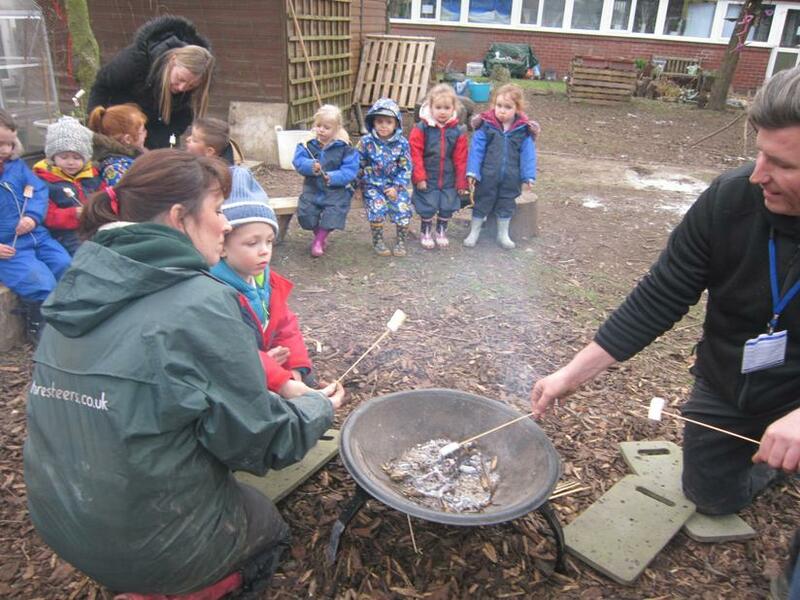 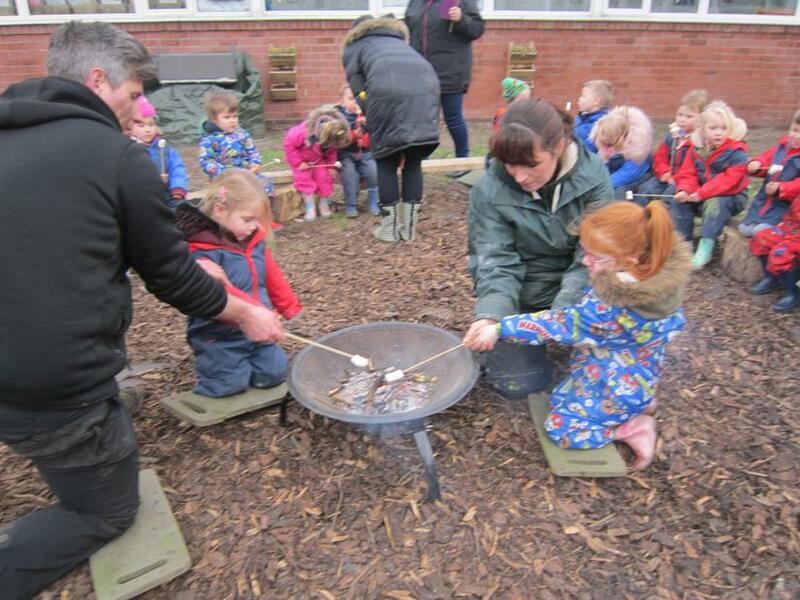 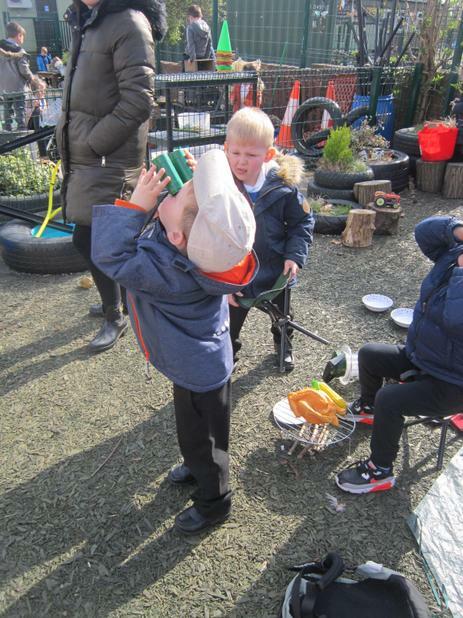 Our forest school day. 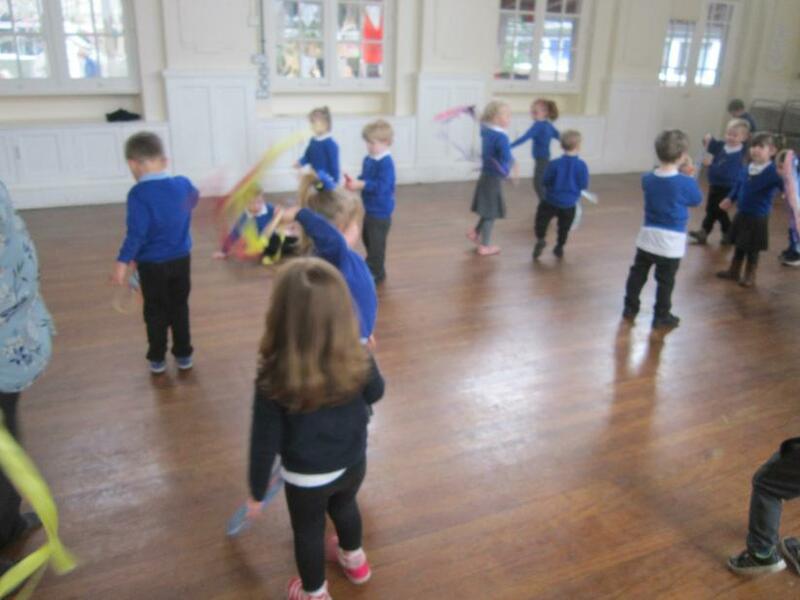 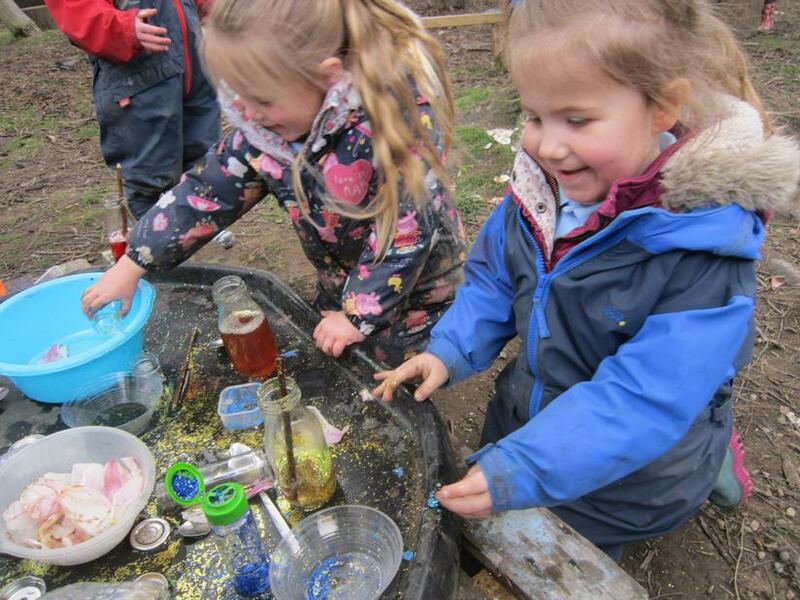 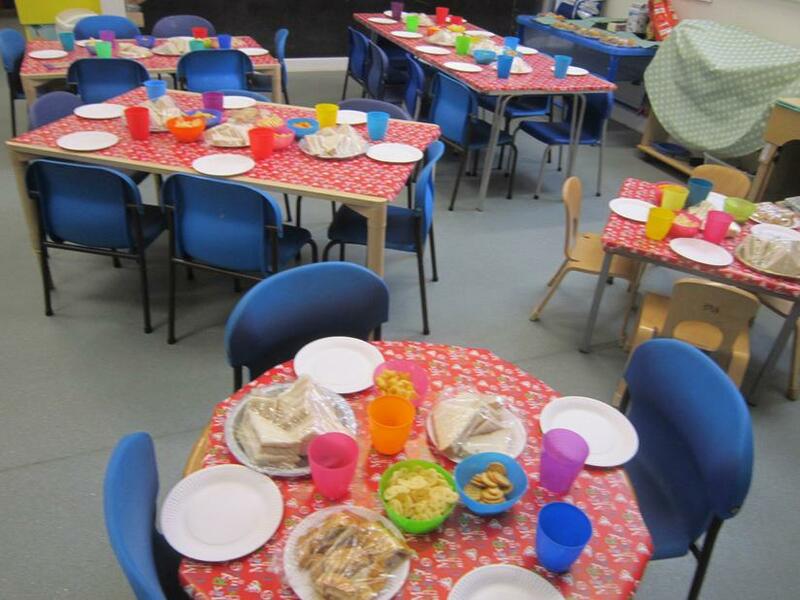 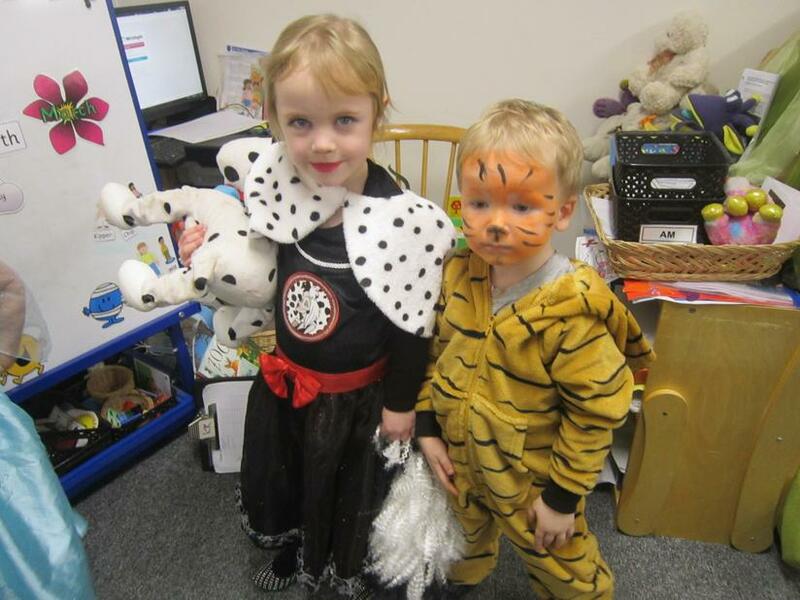 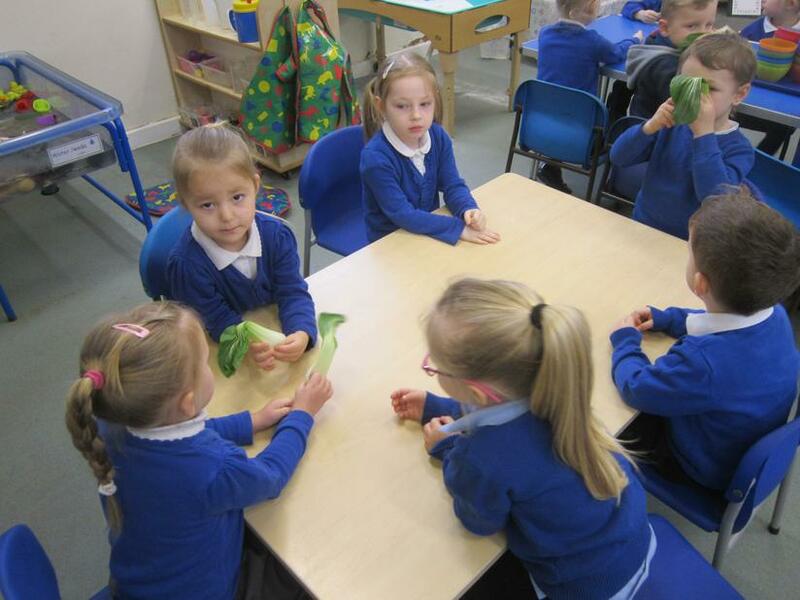 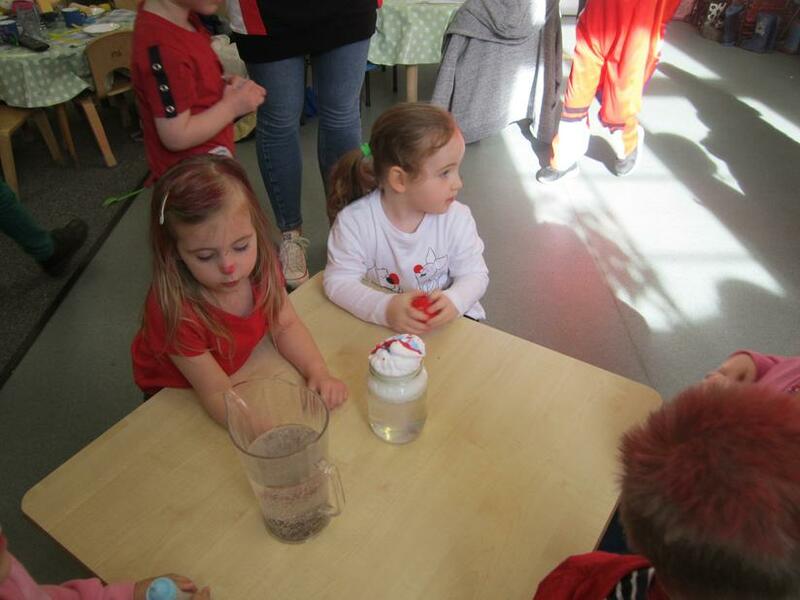 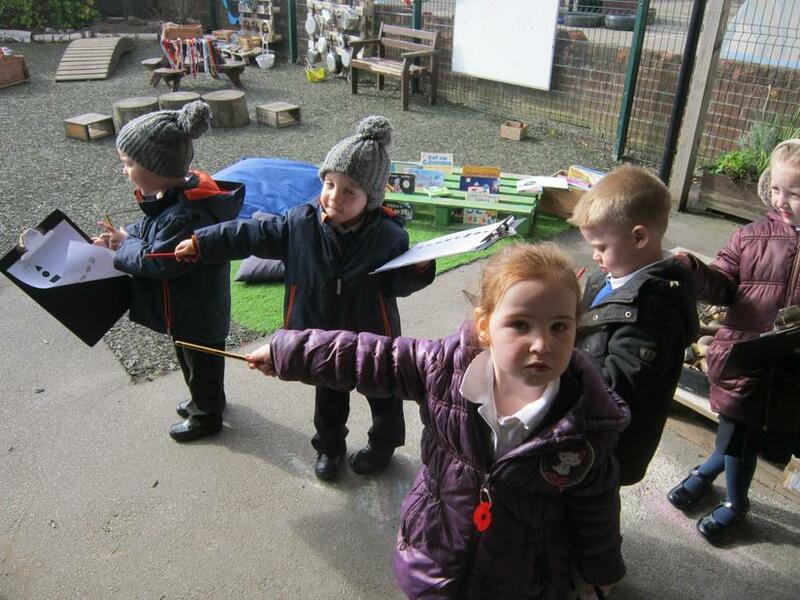 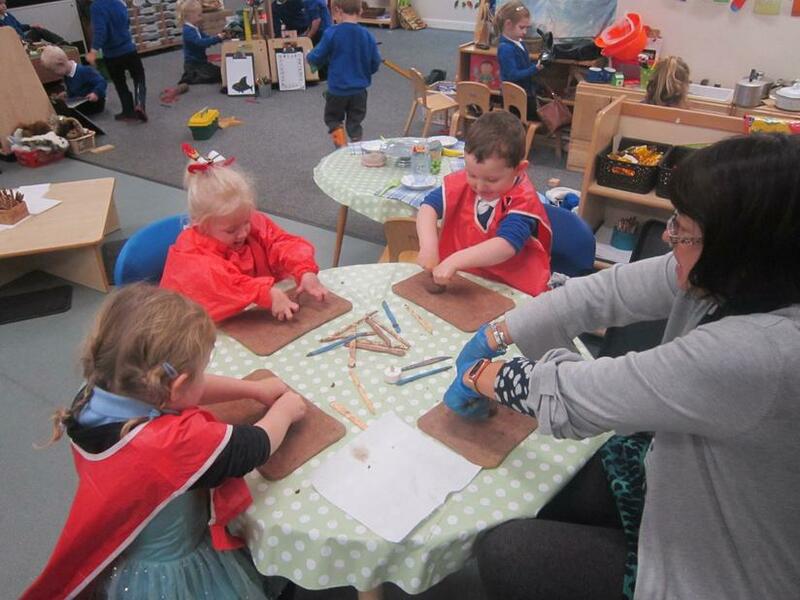 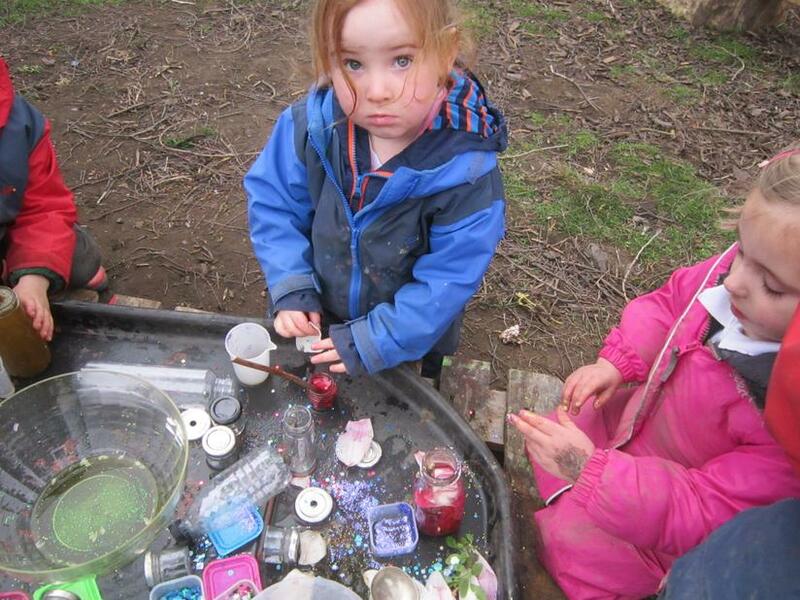 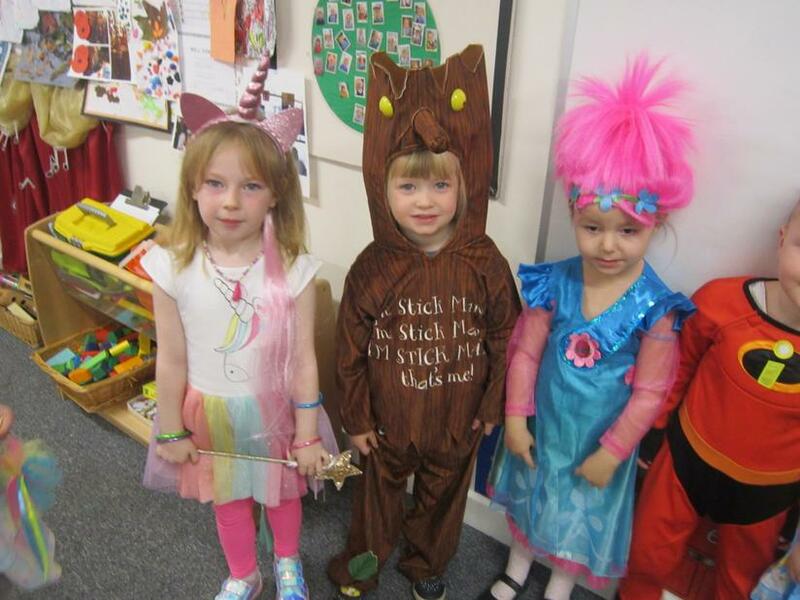 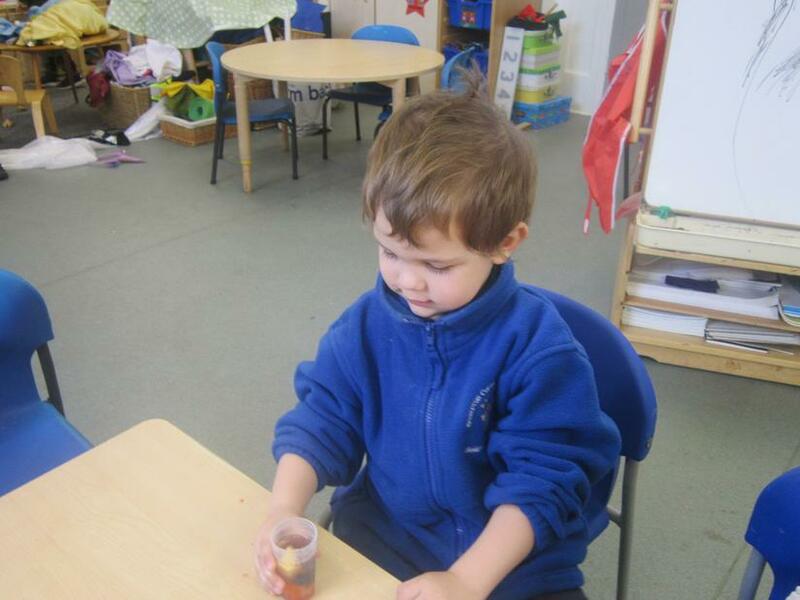 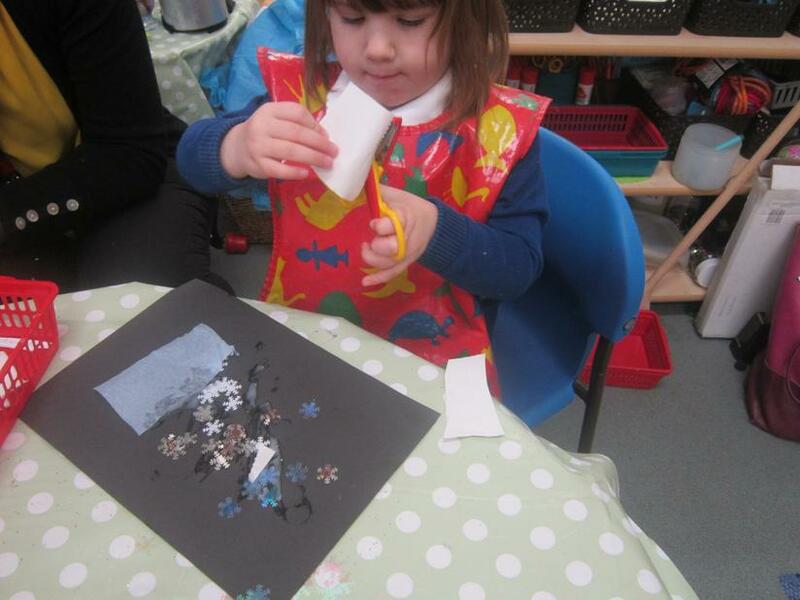 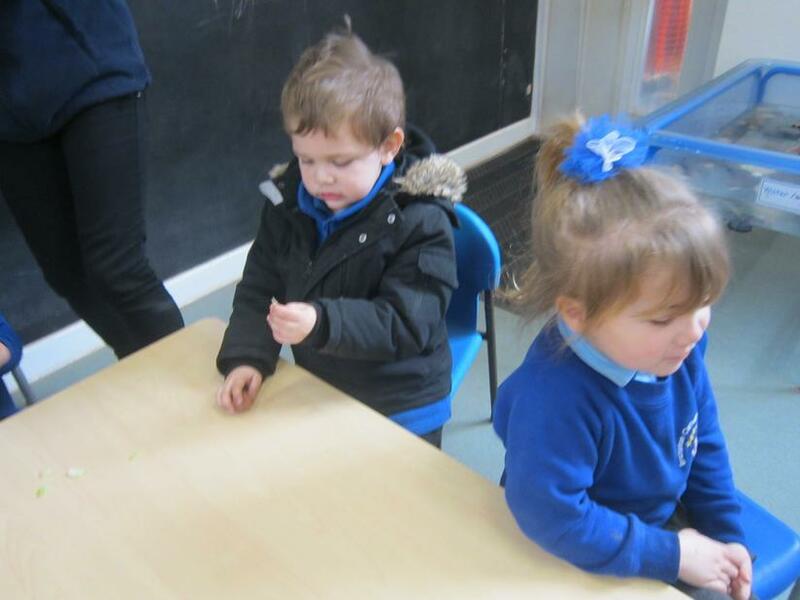 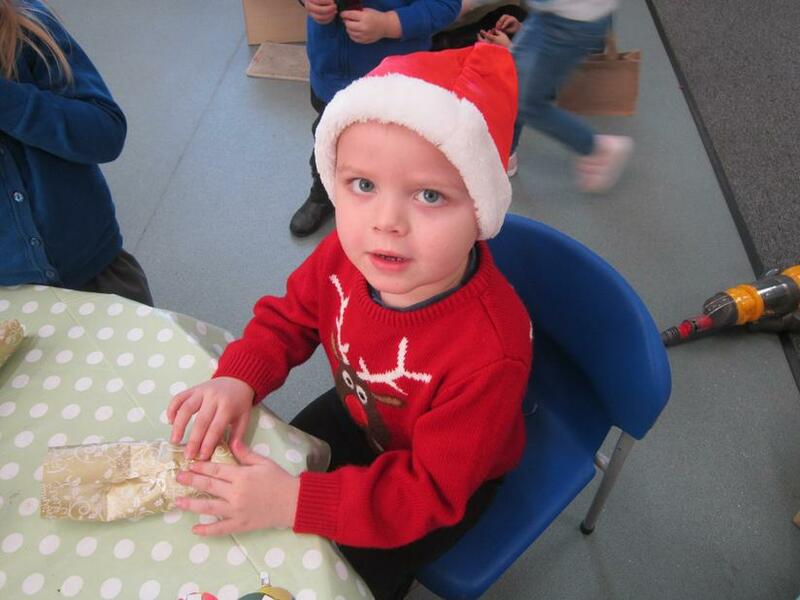 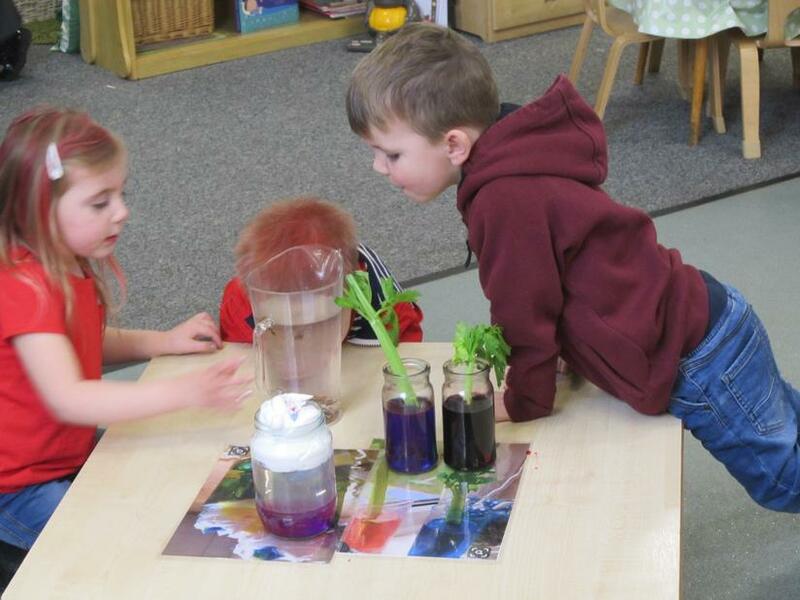 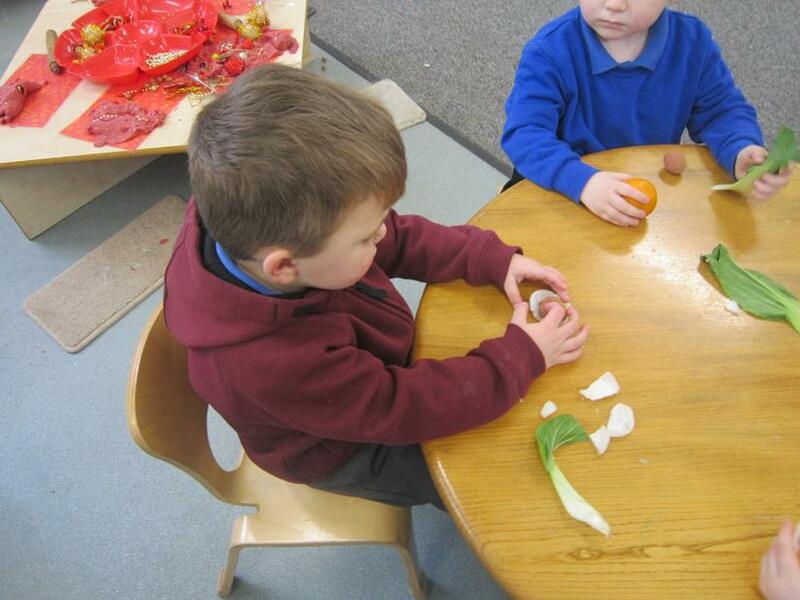 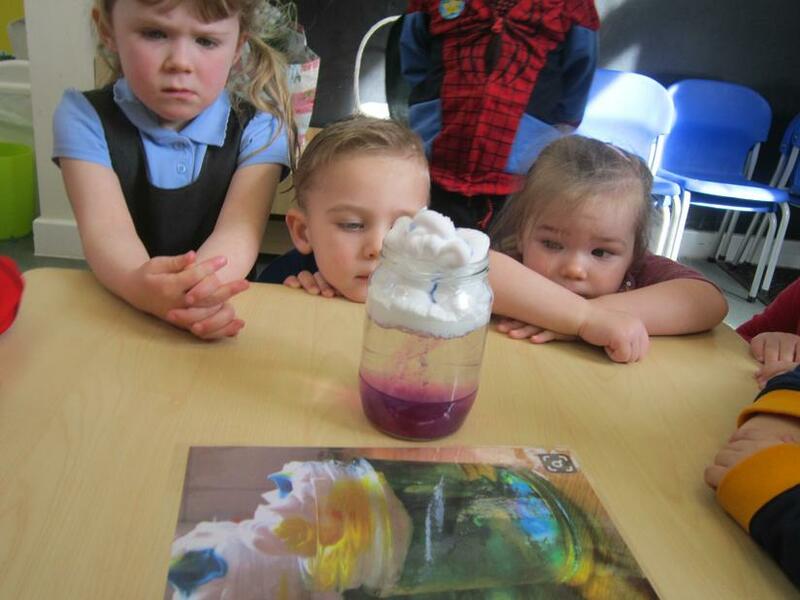 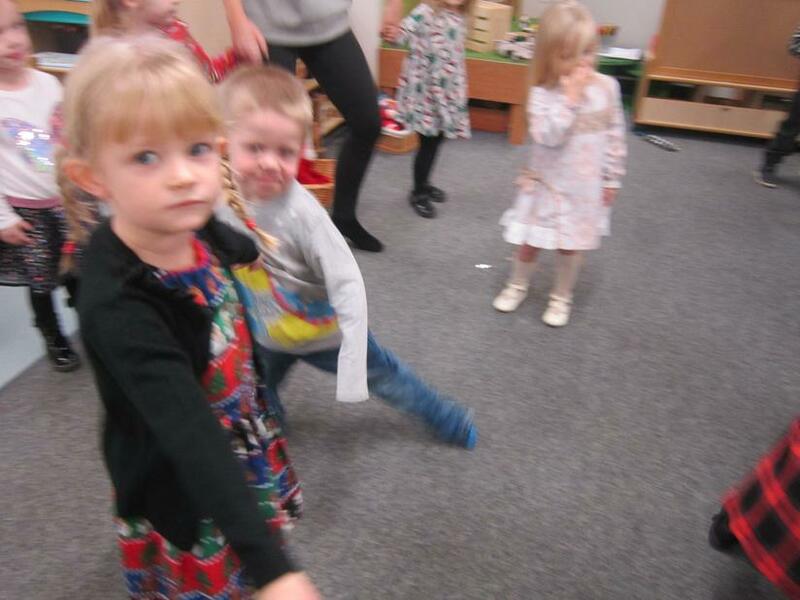 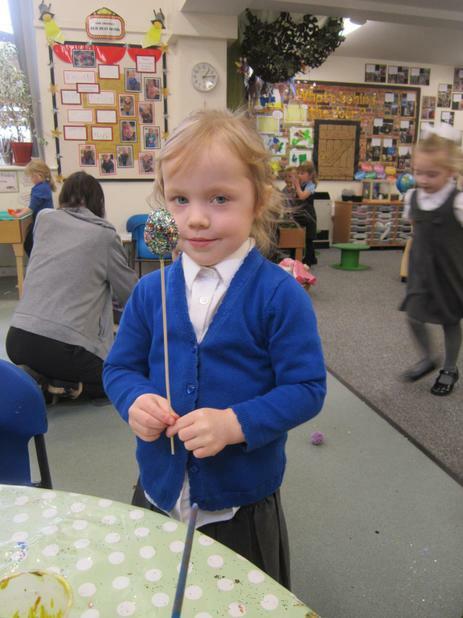 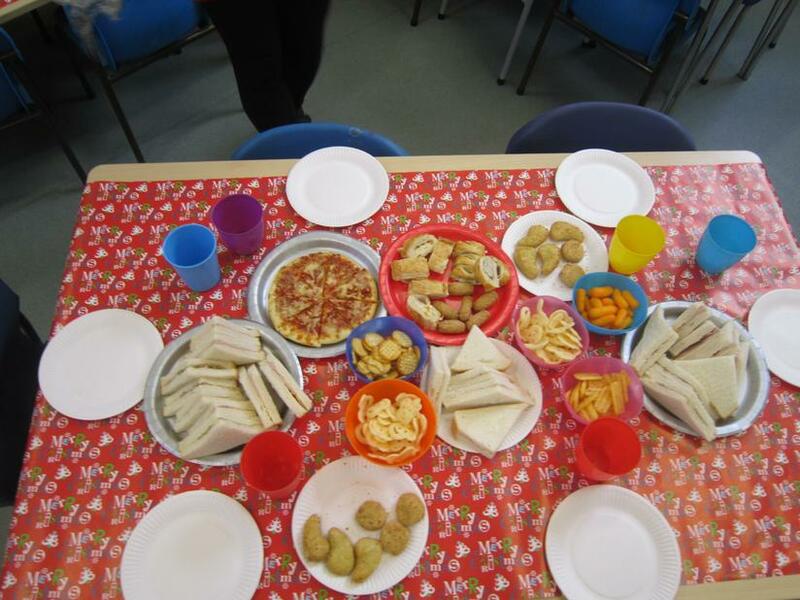 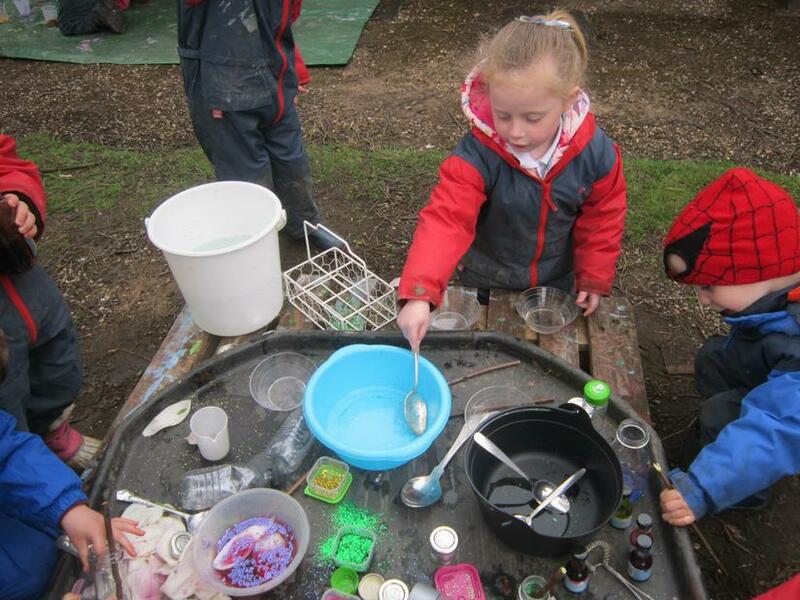 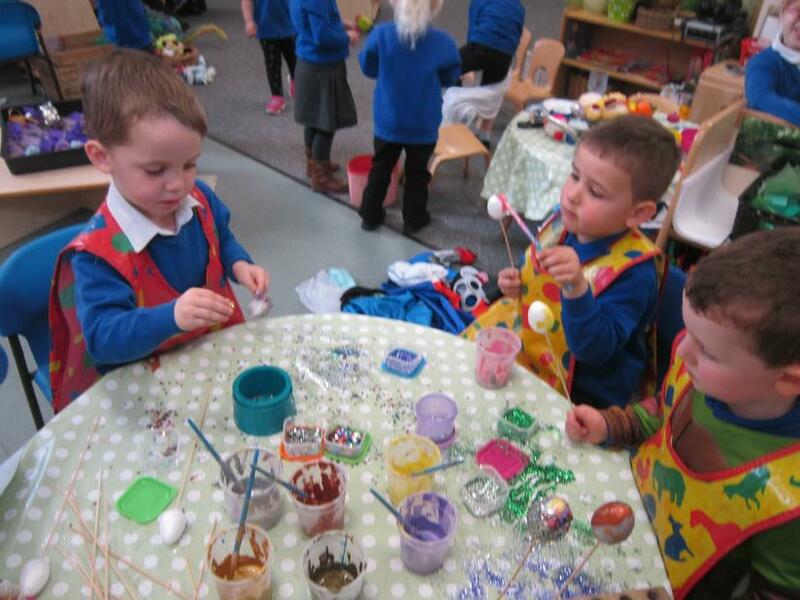 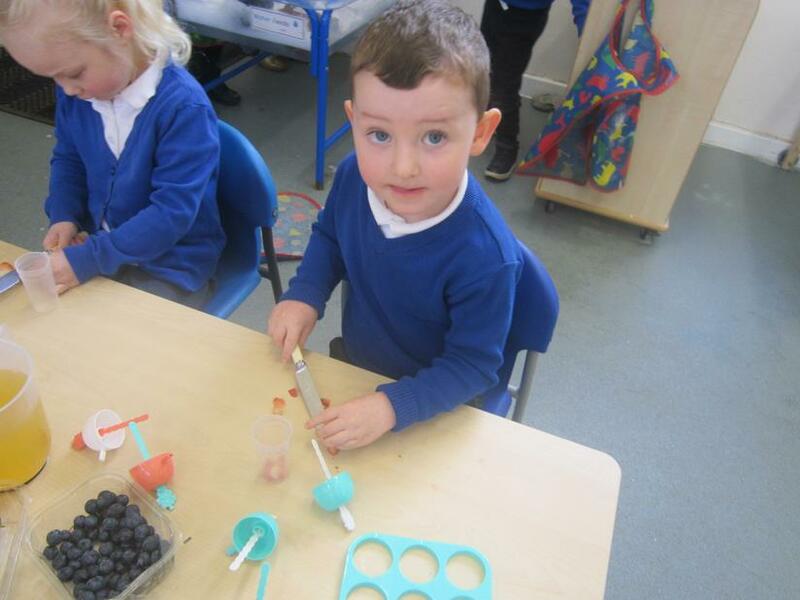 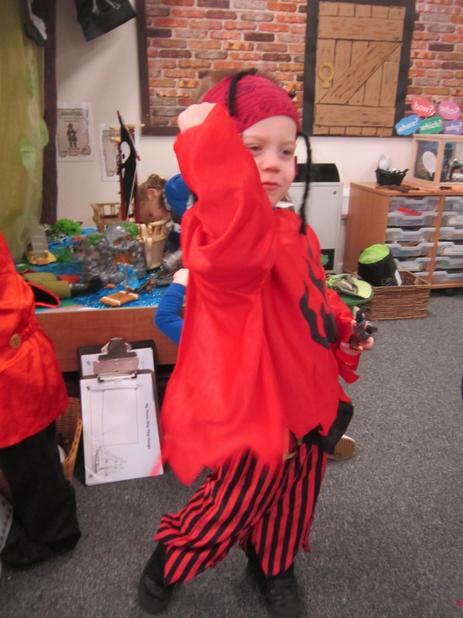 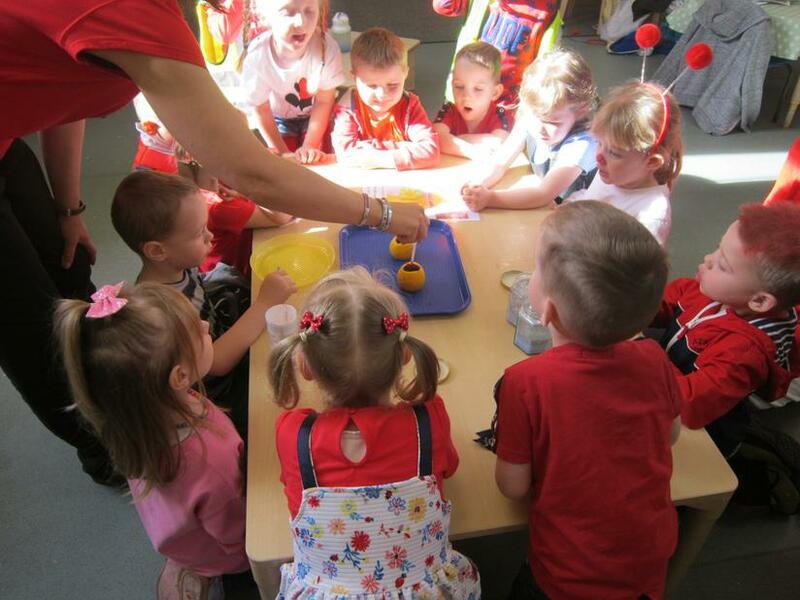 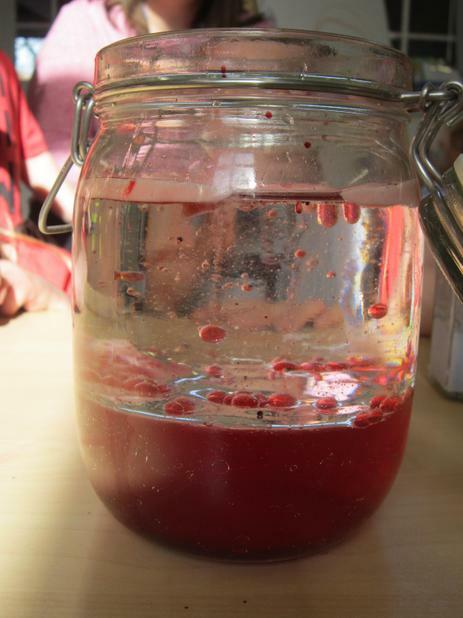 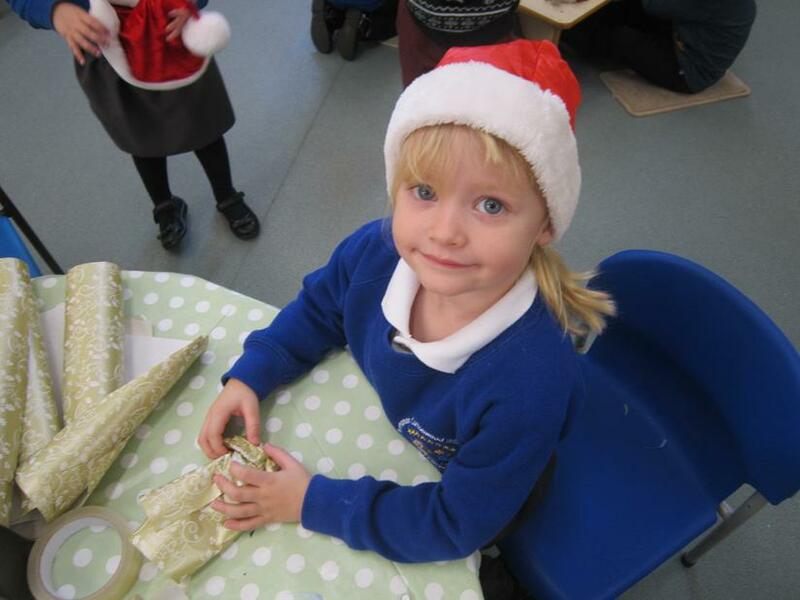 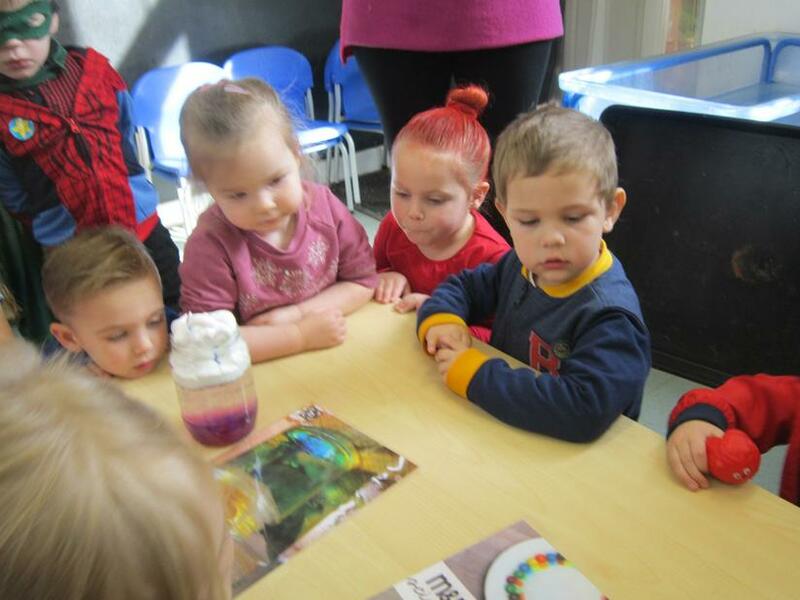 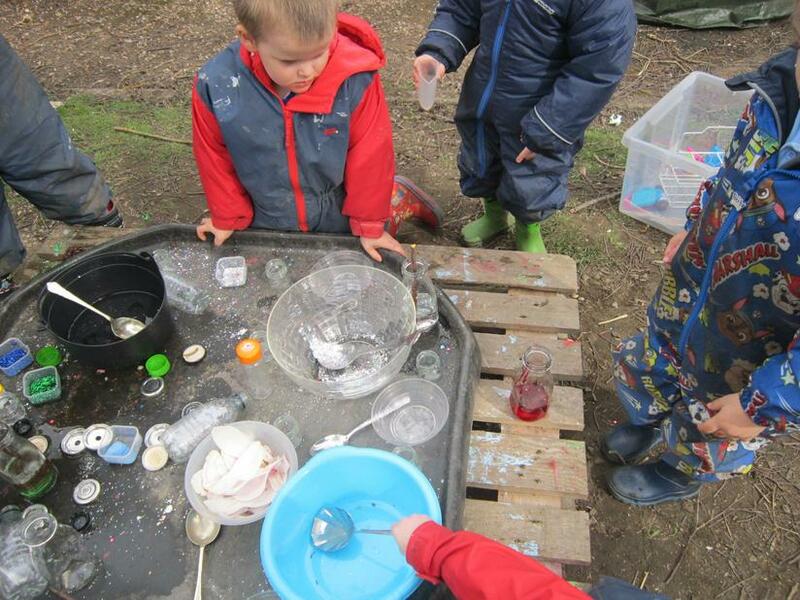 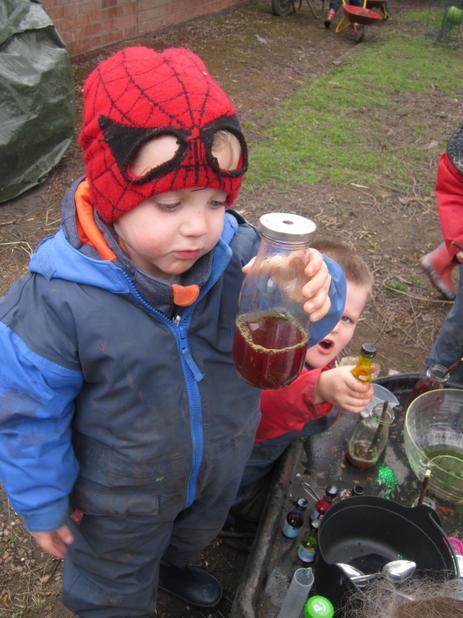 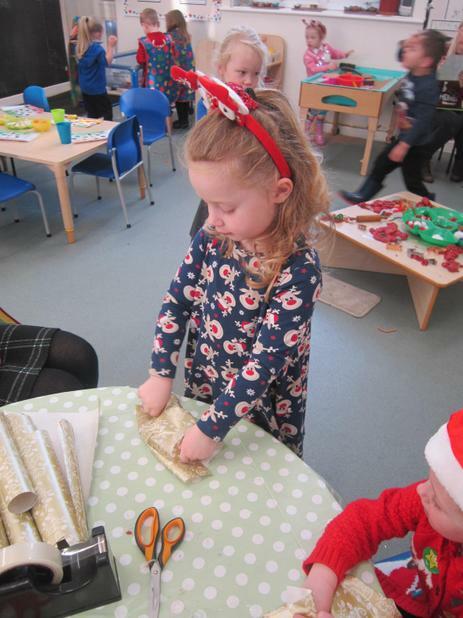 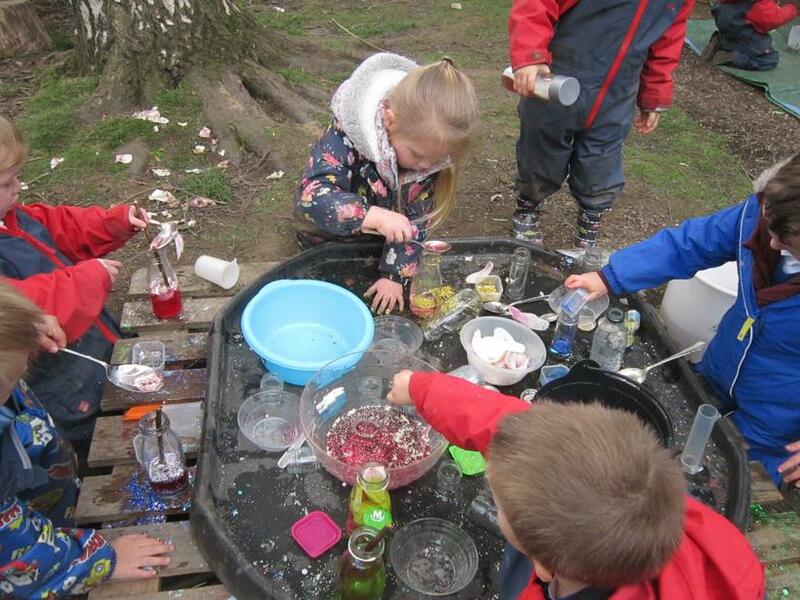 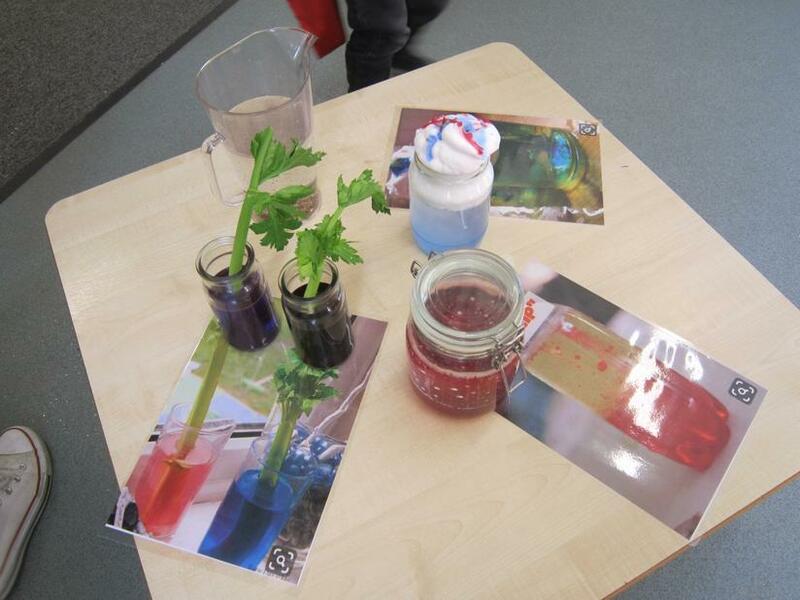 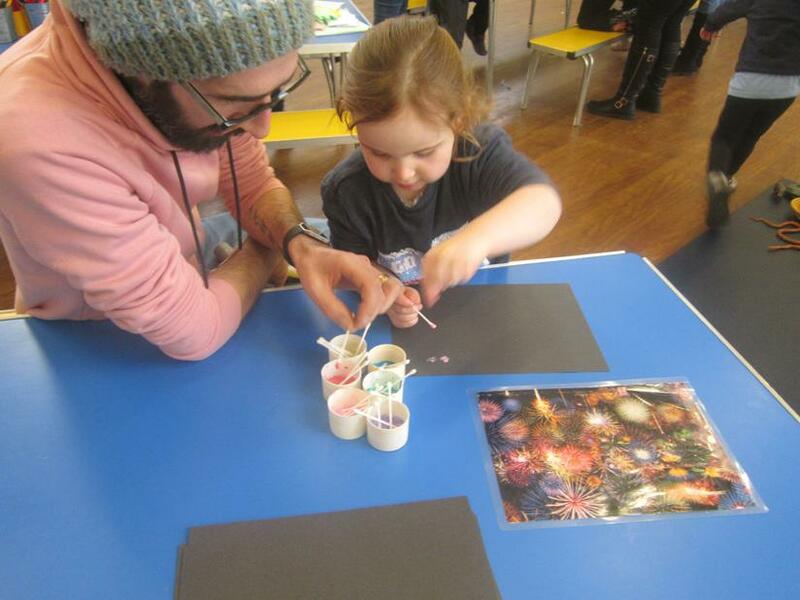 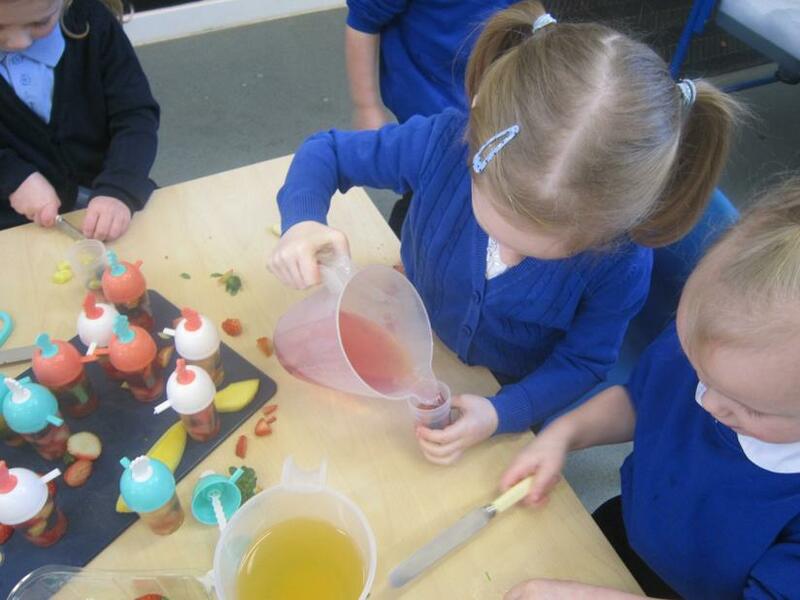 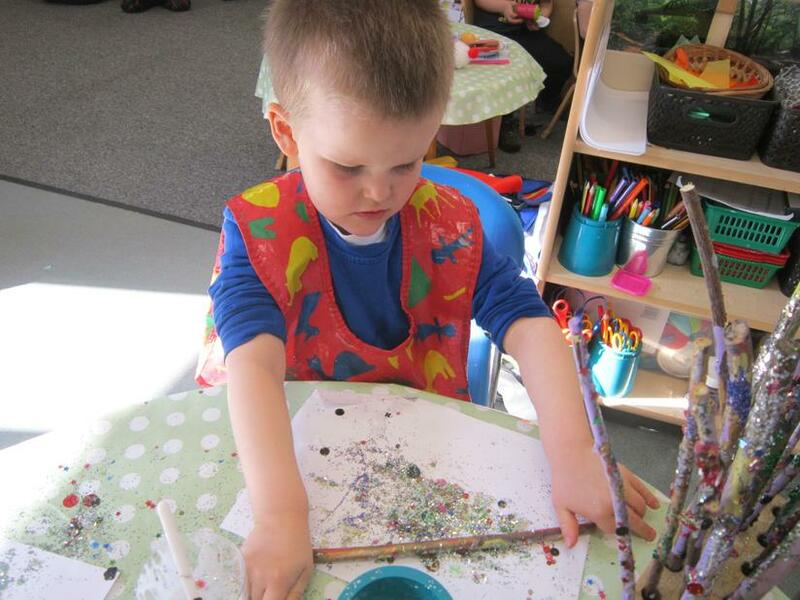 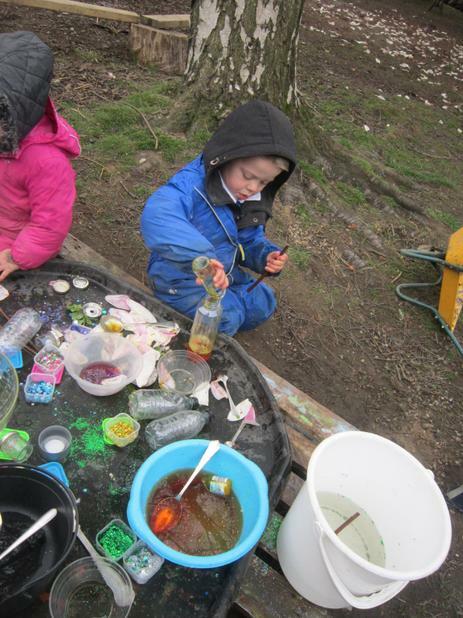 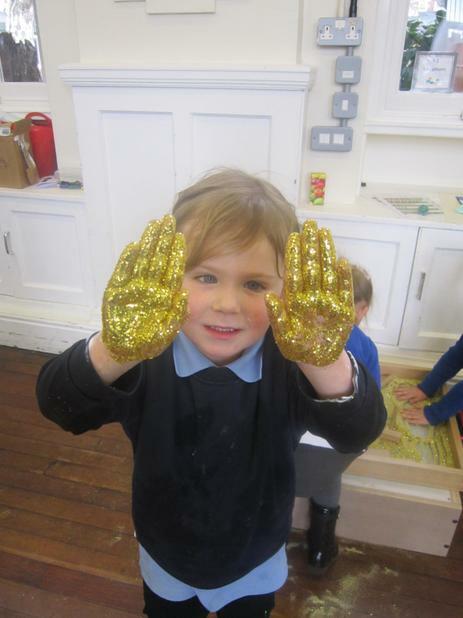 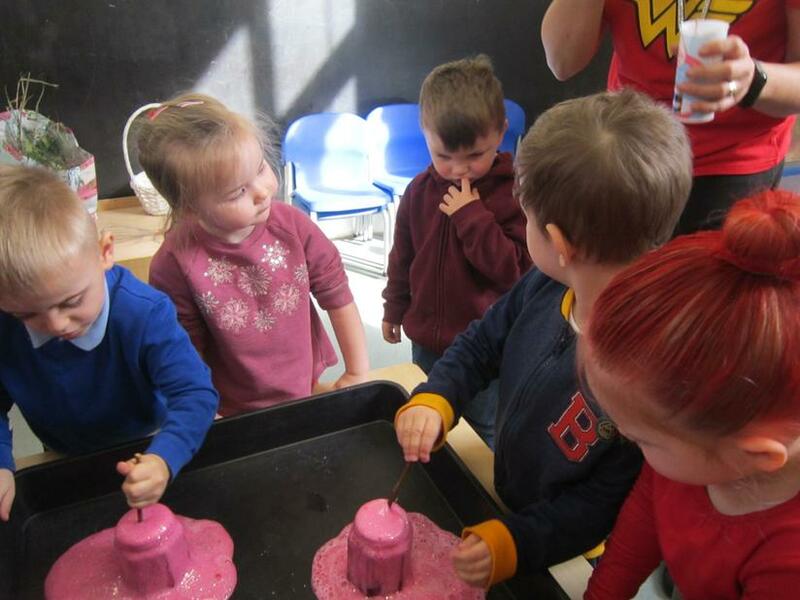 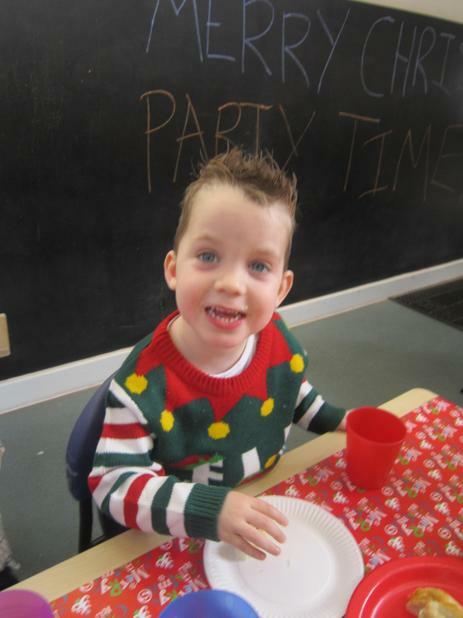 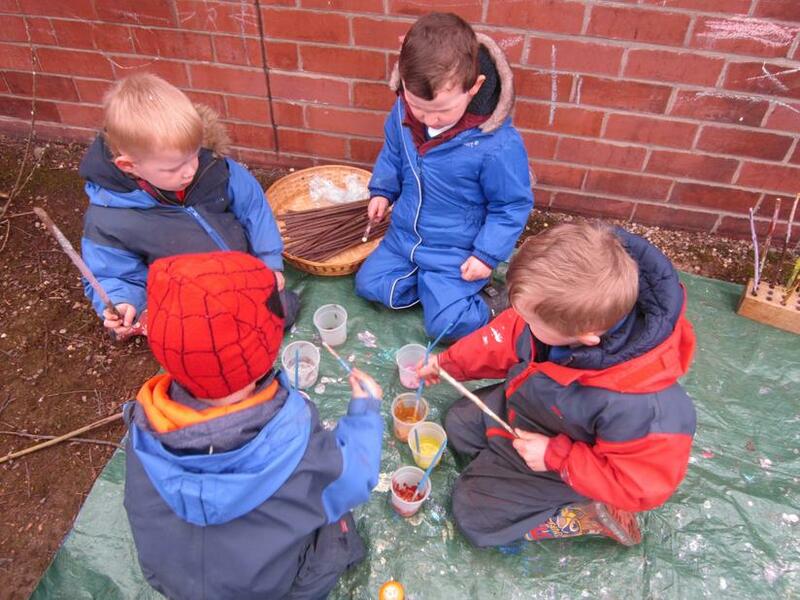 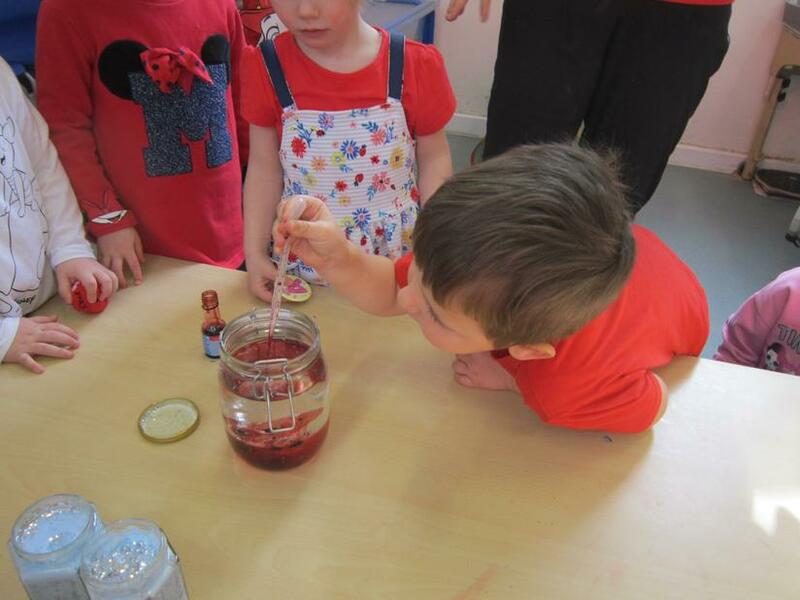 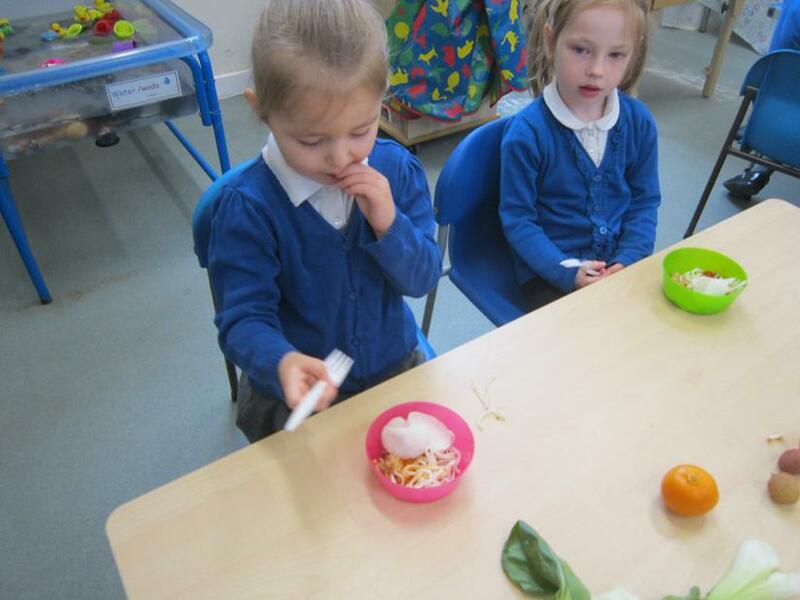 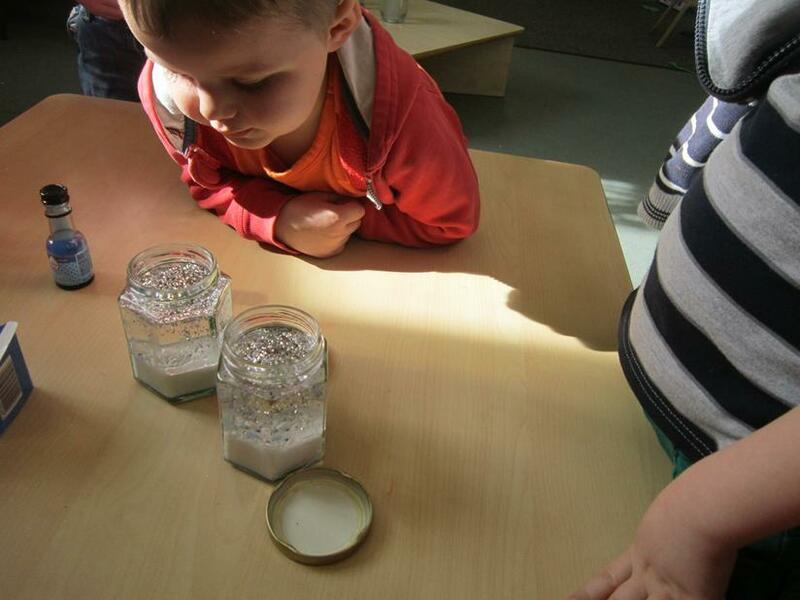 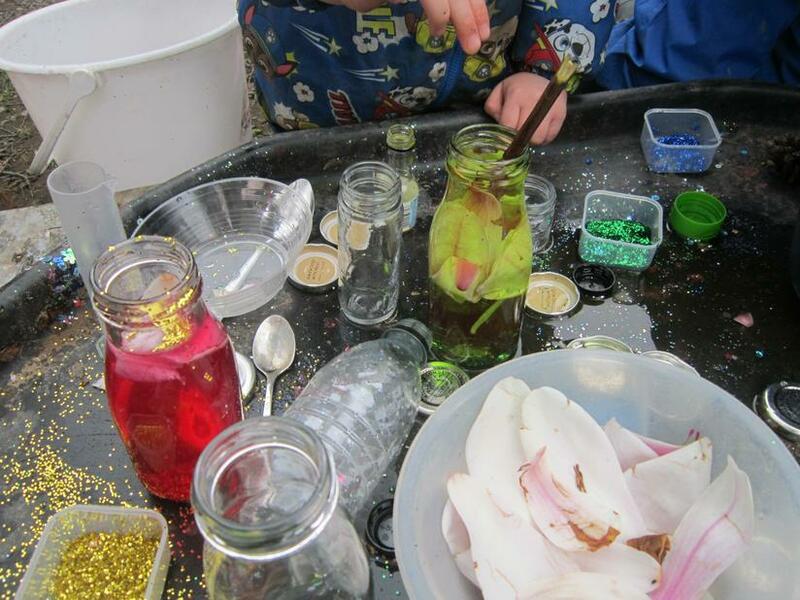 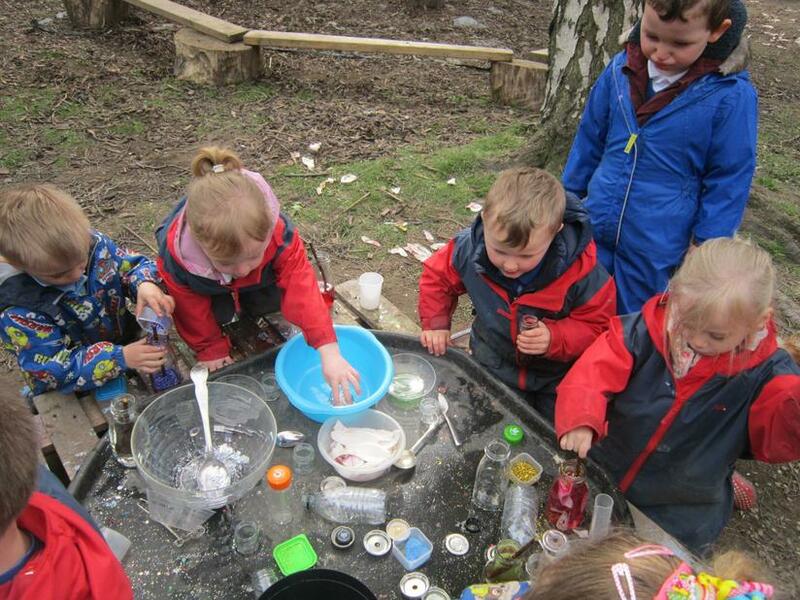 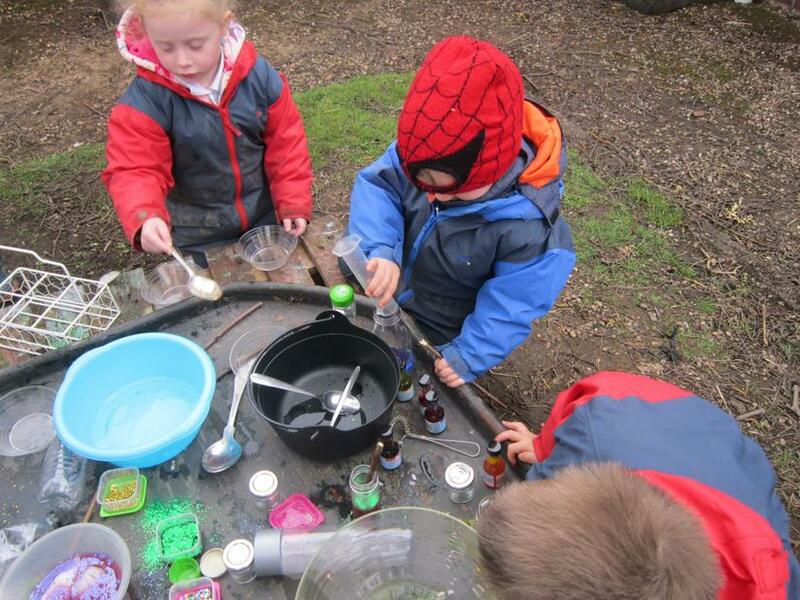 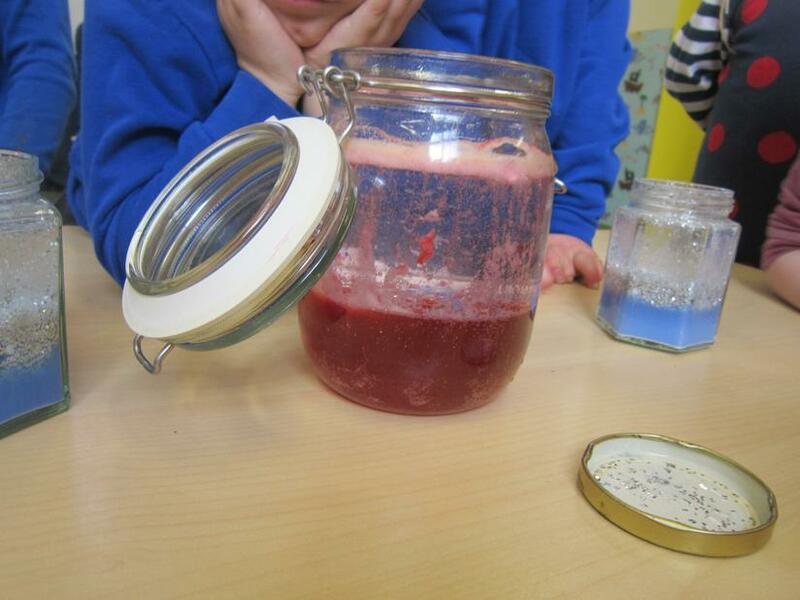 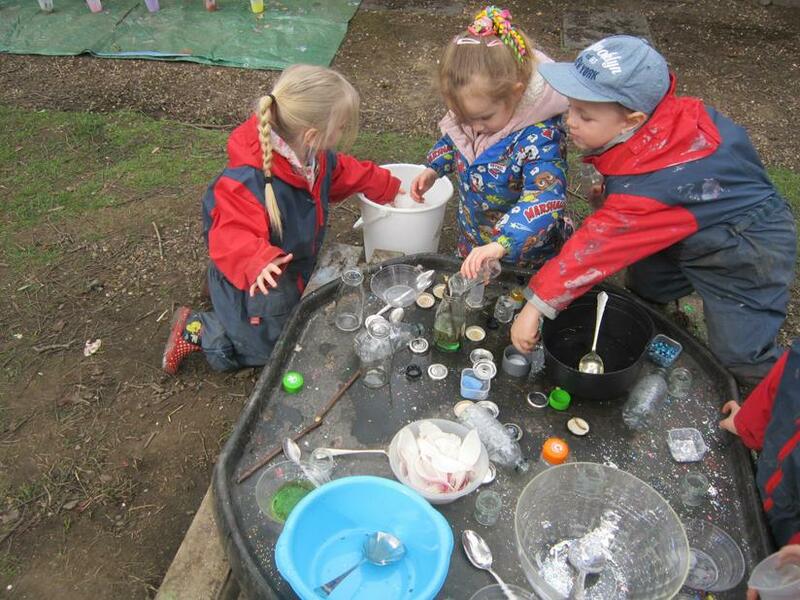 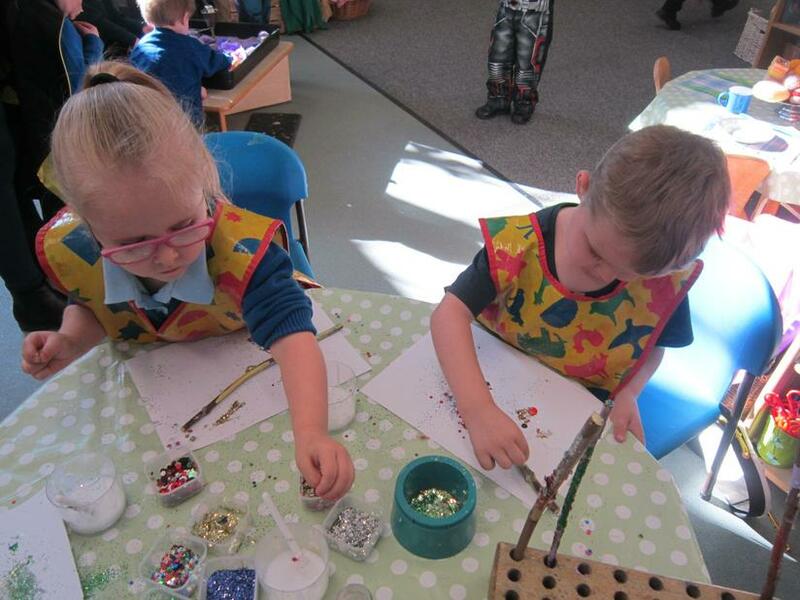 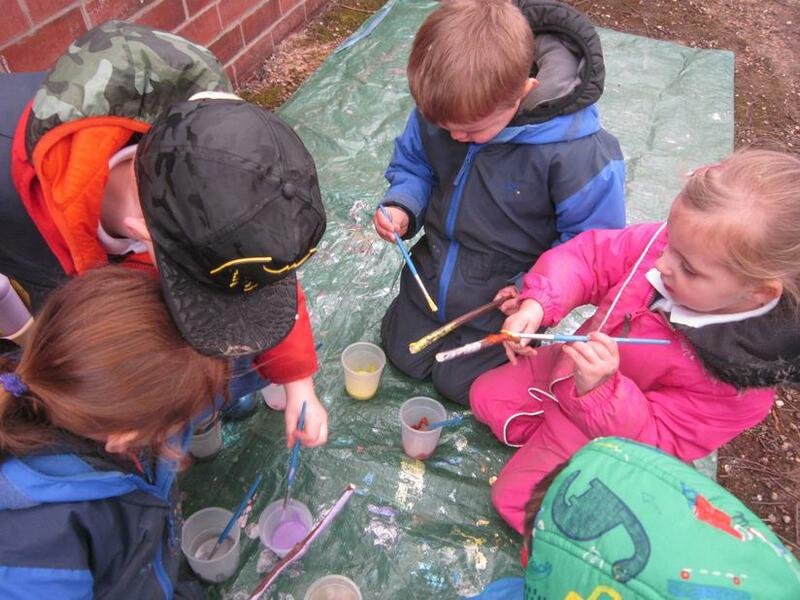 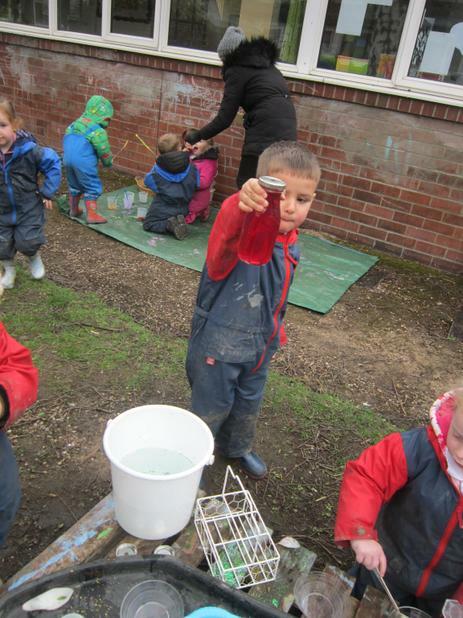 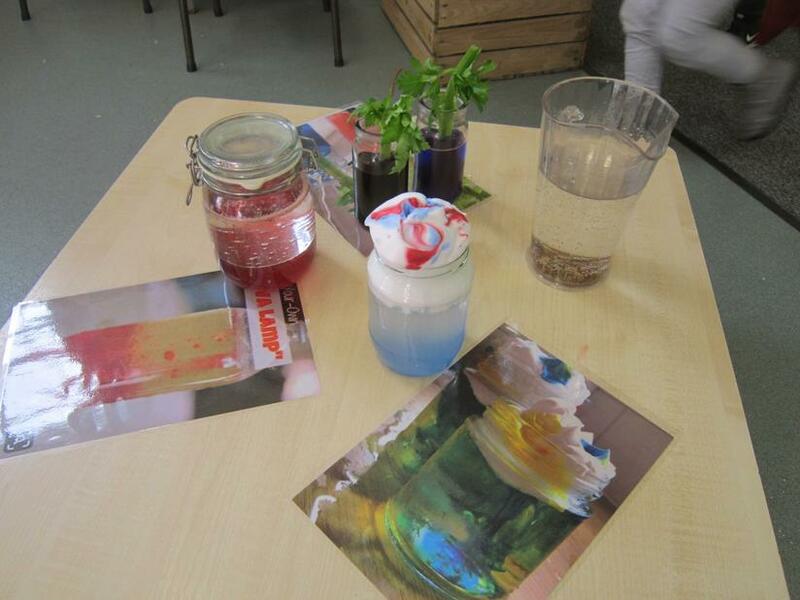 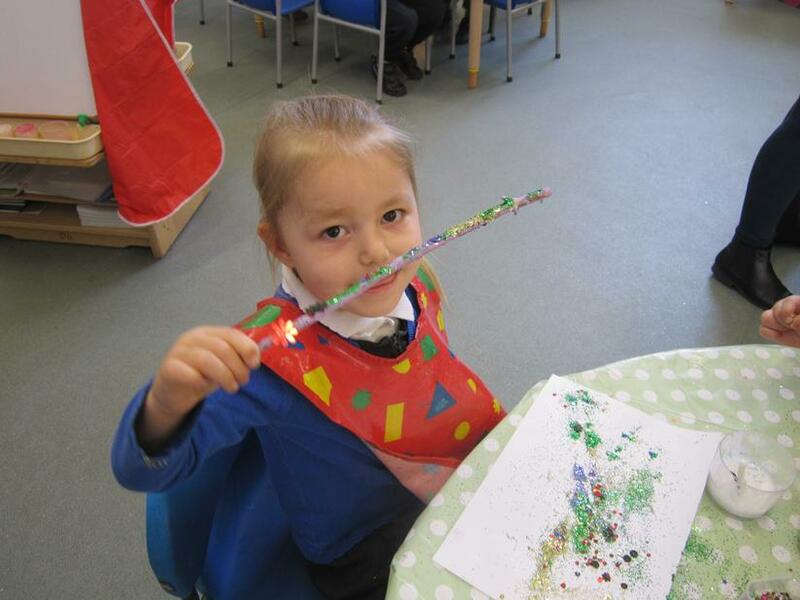 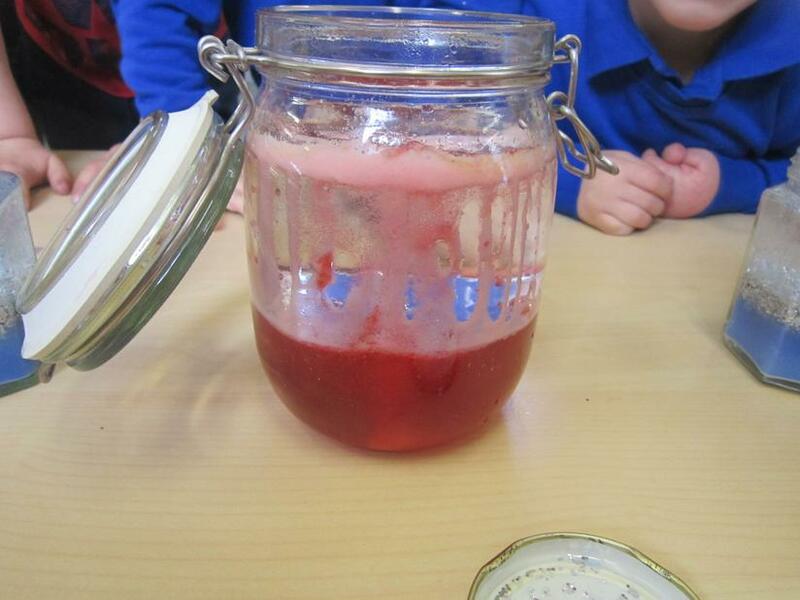 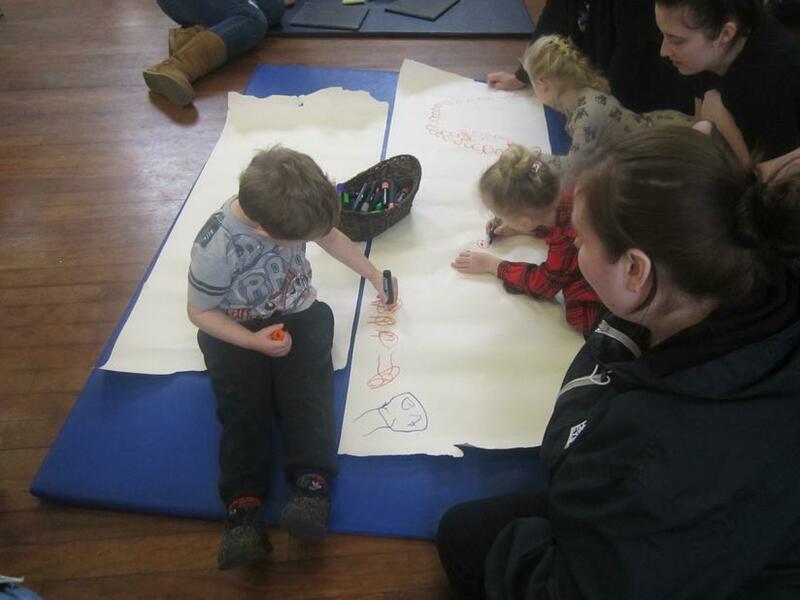 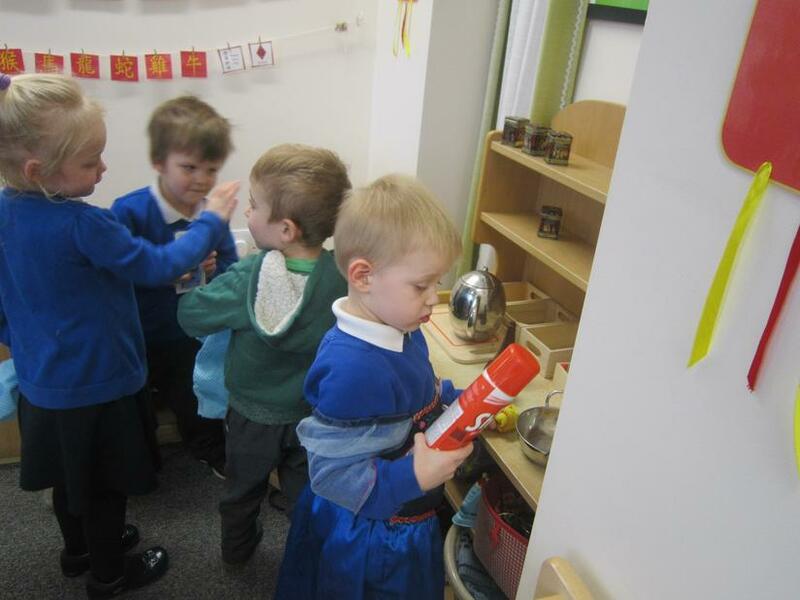 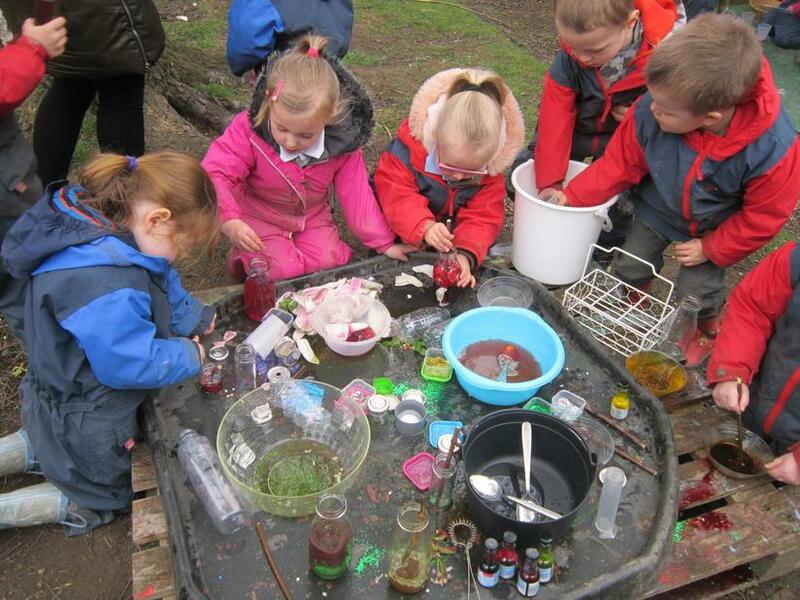 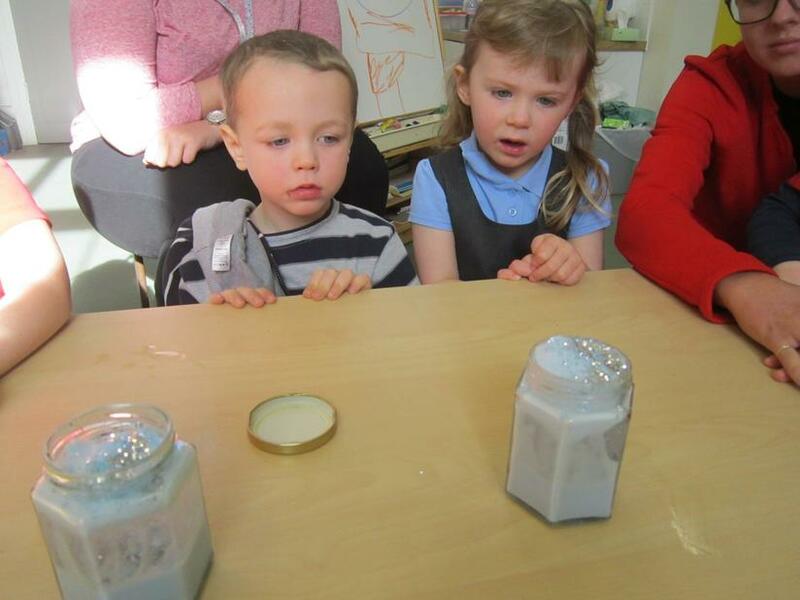 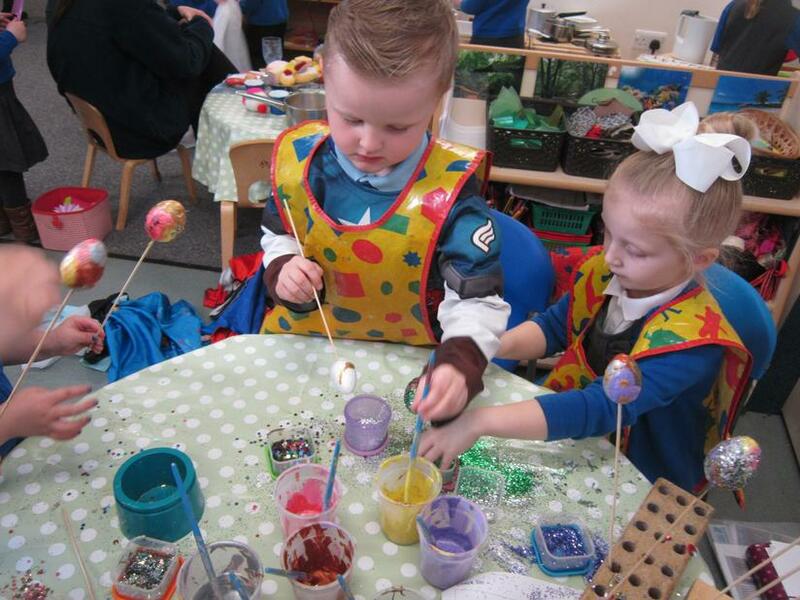 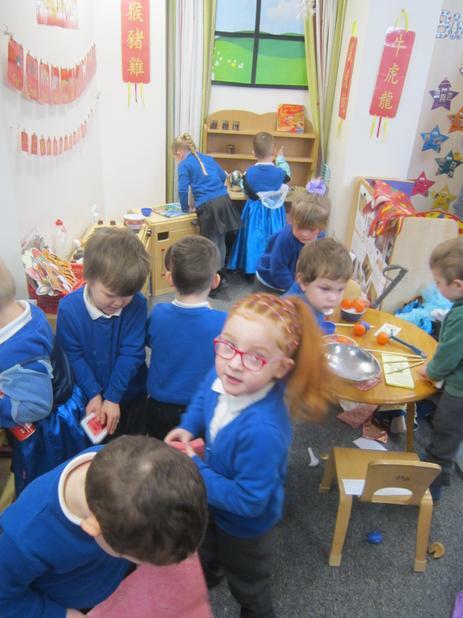 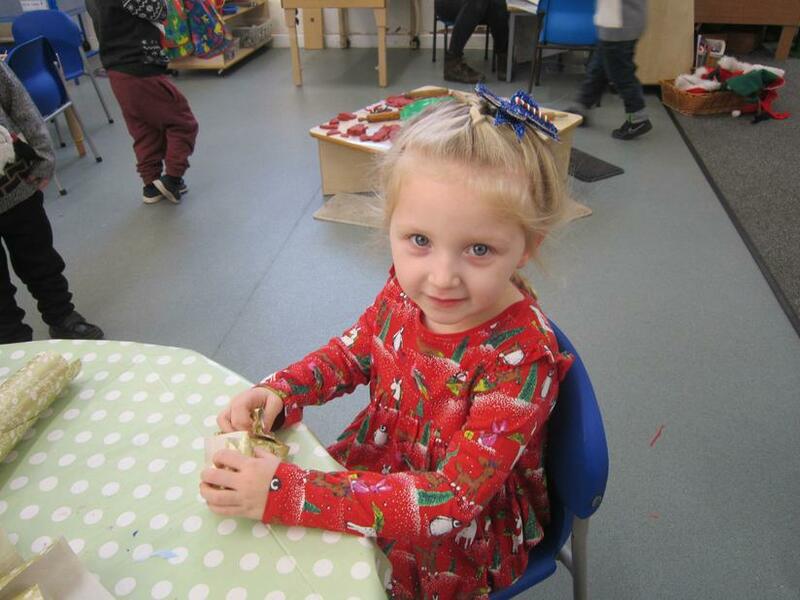 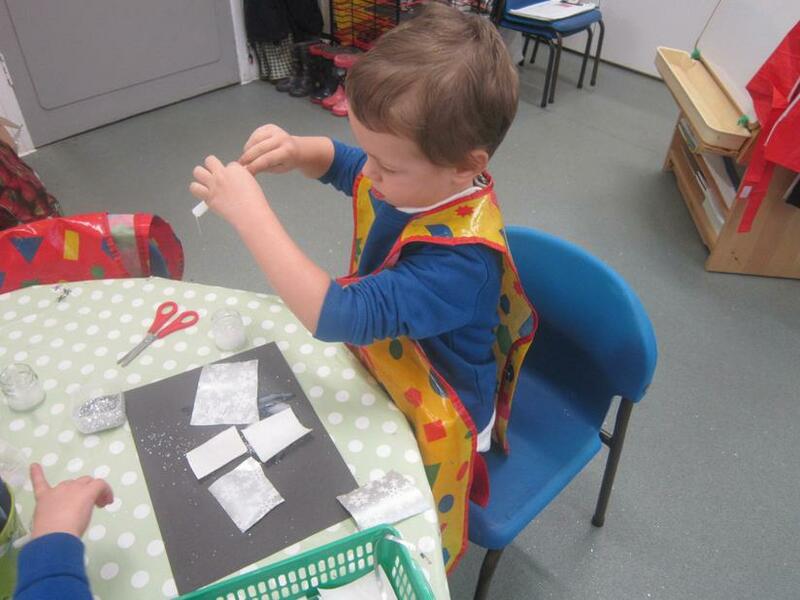 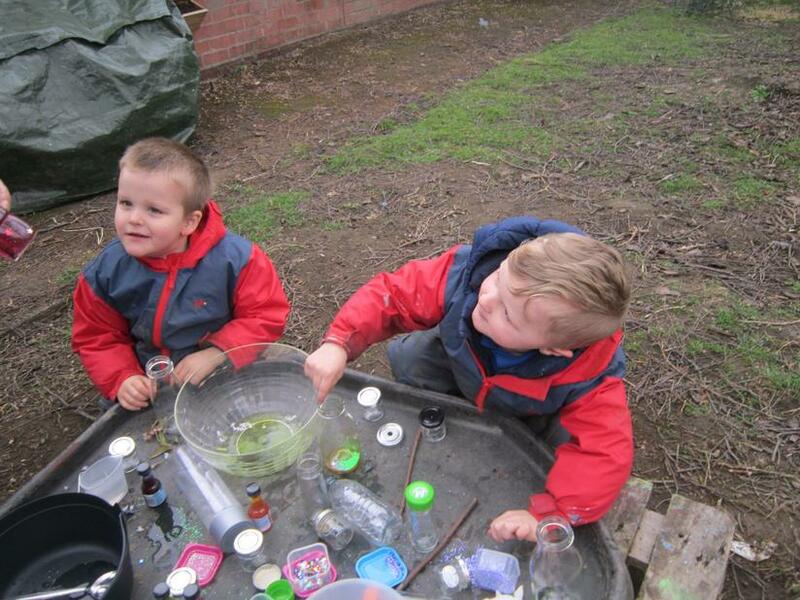 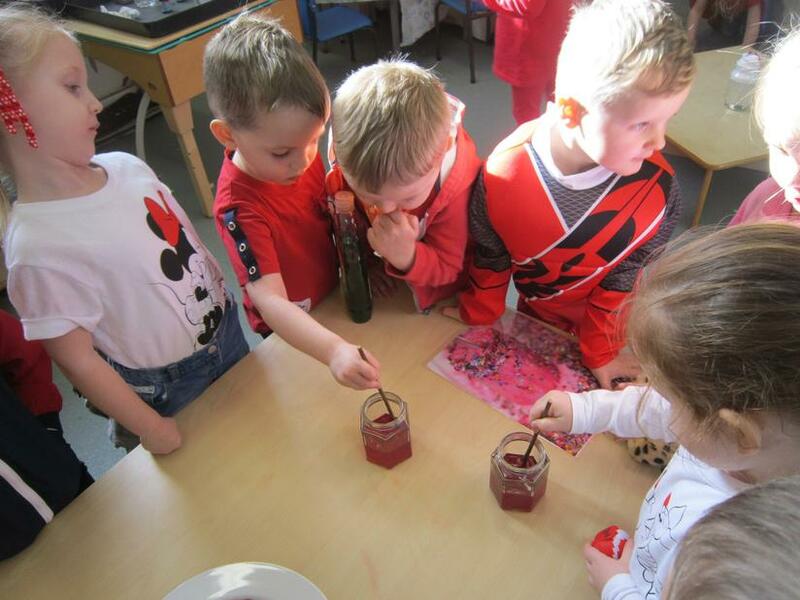 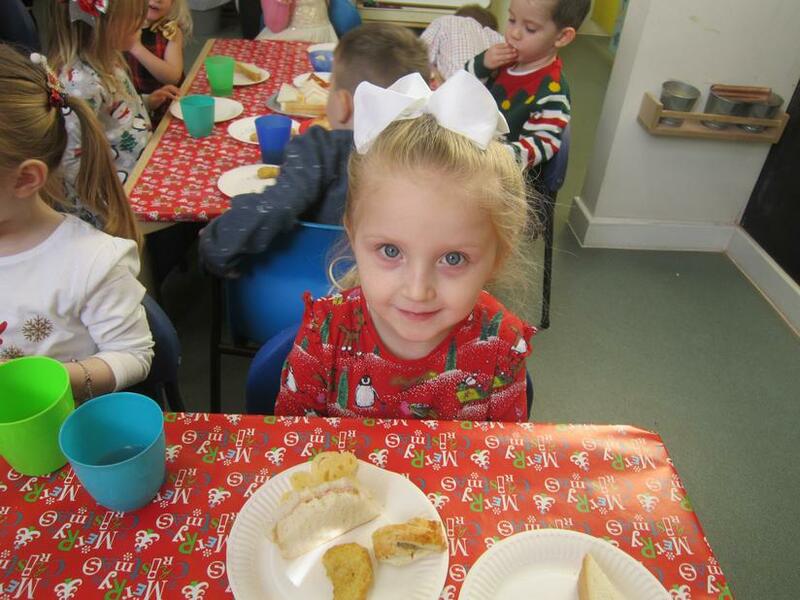 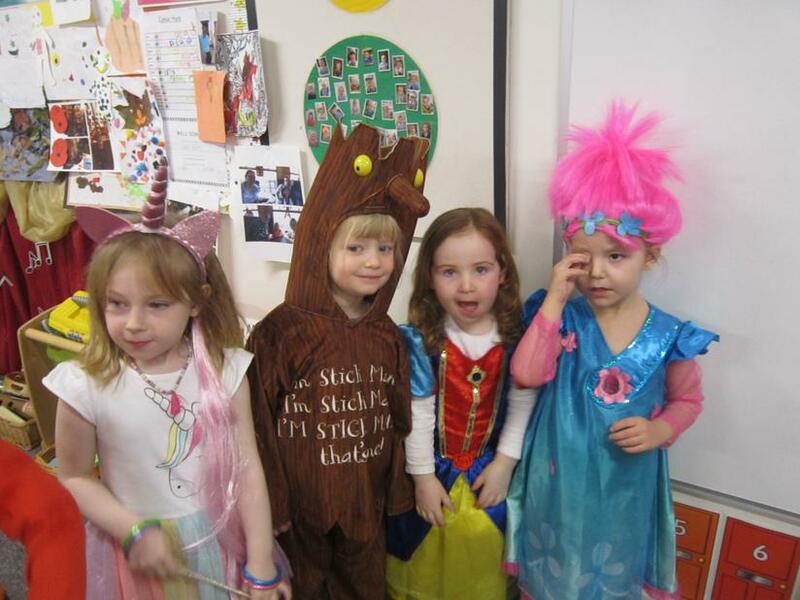 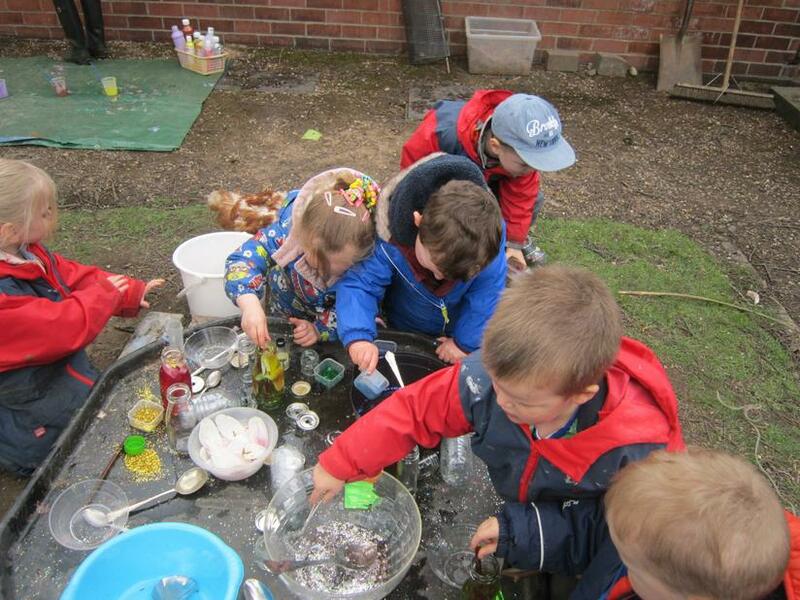 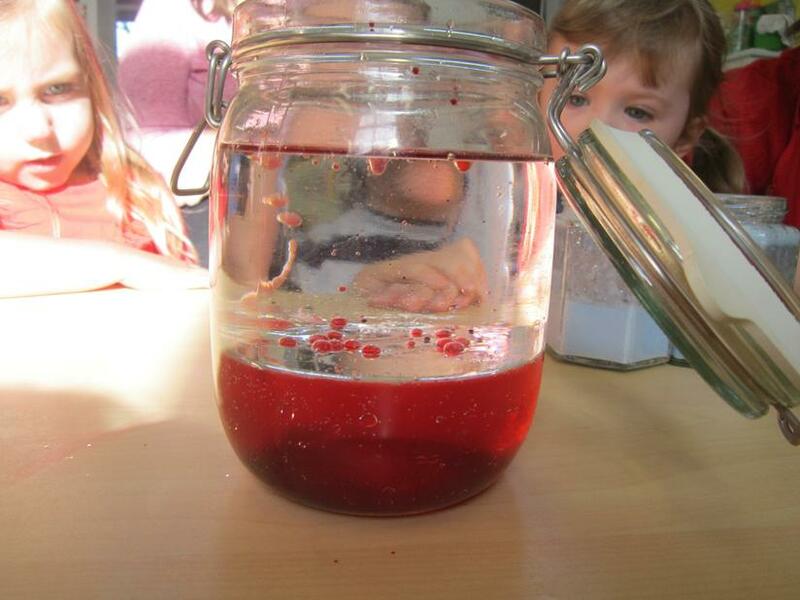 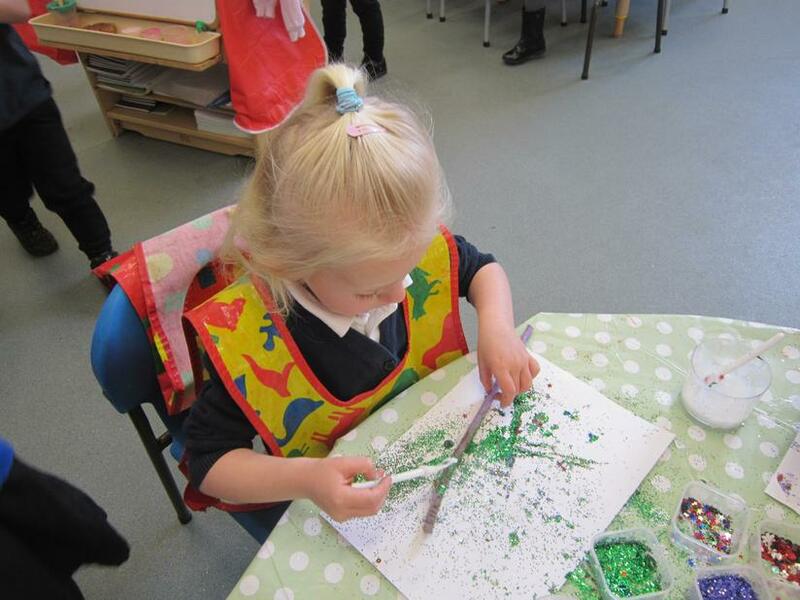 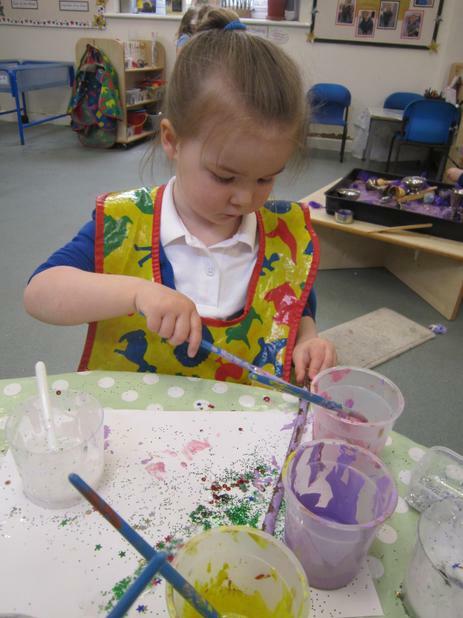 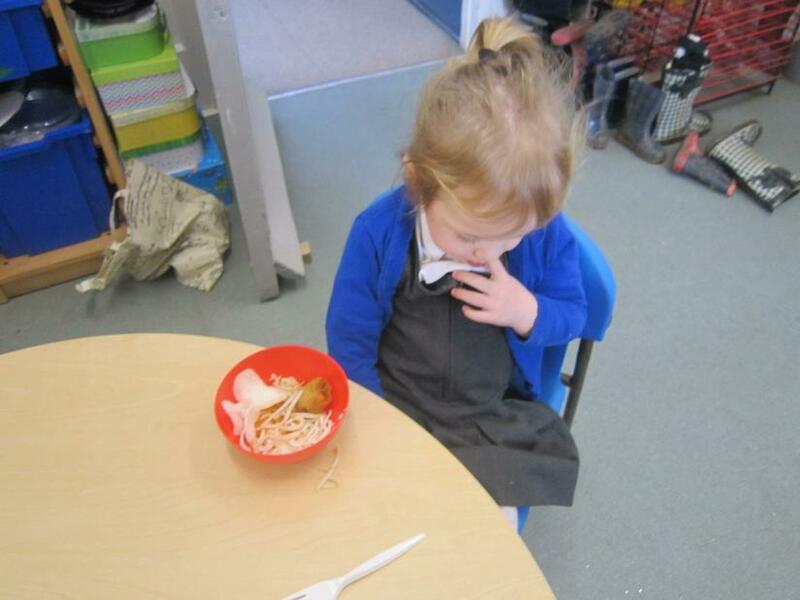 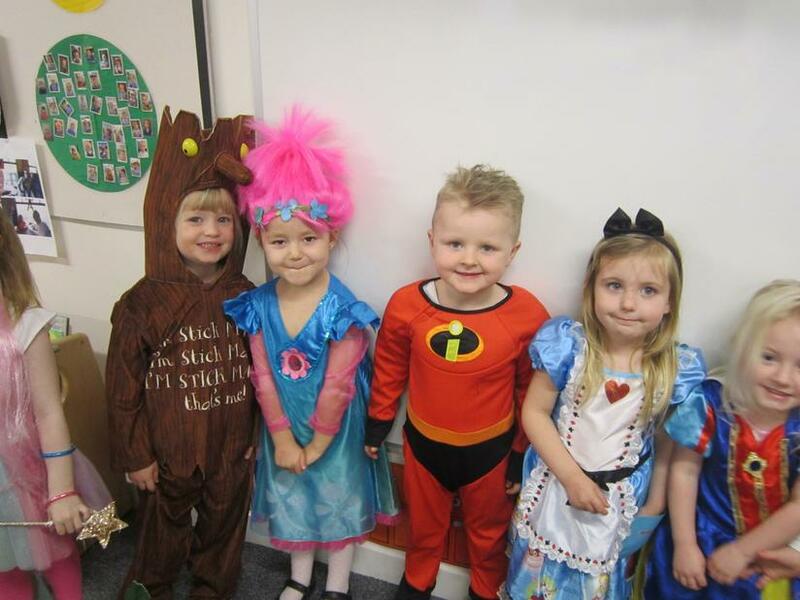 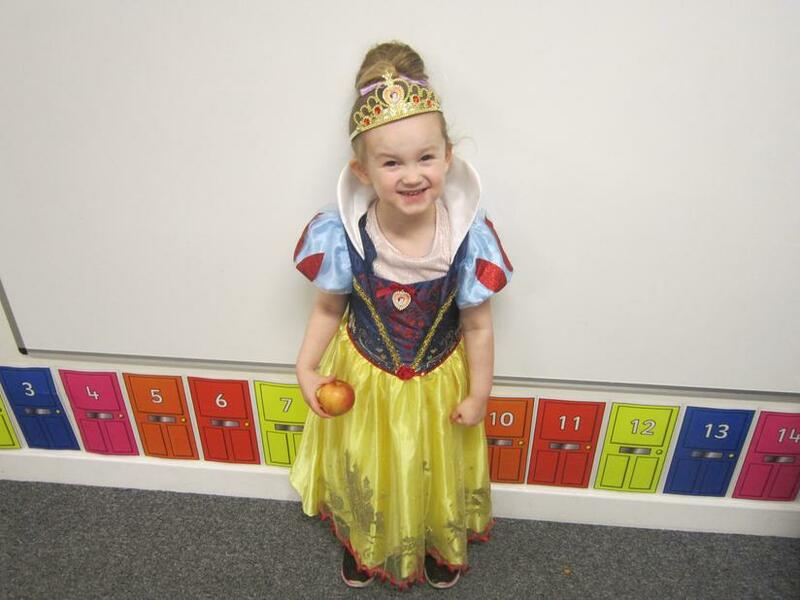 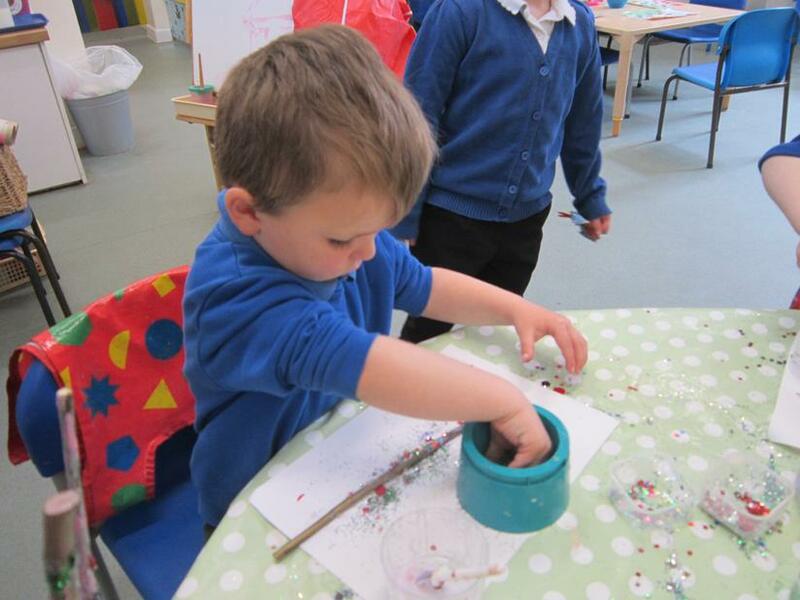 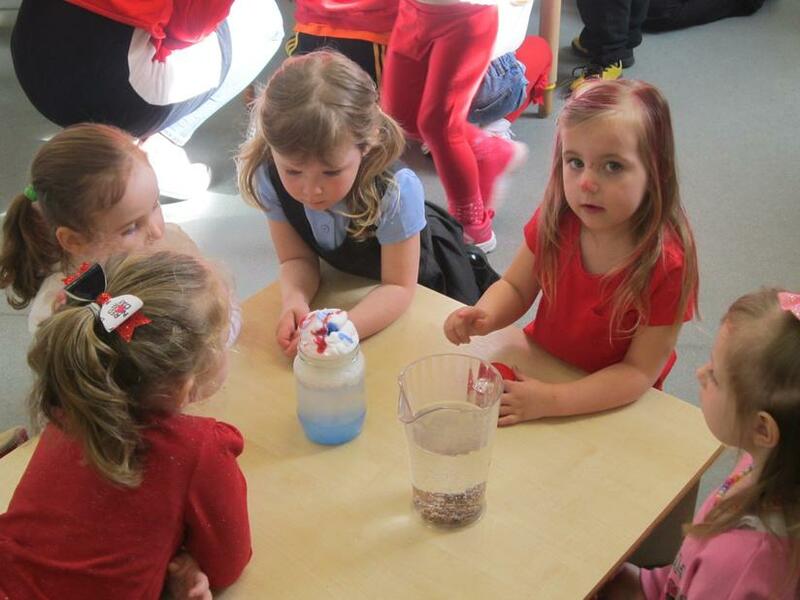 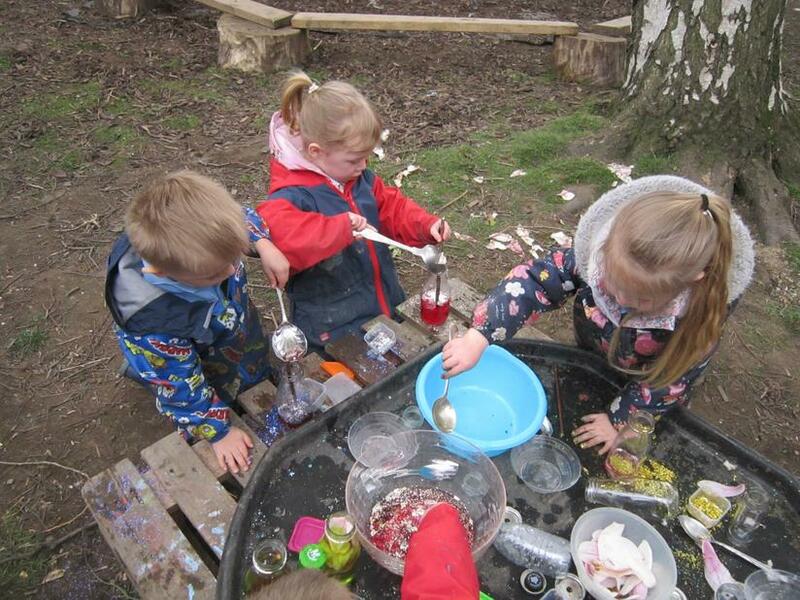 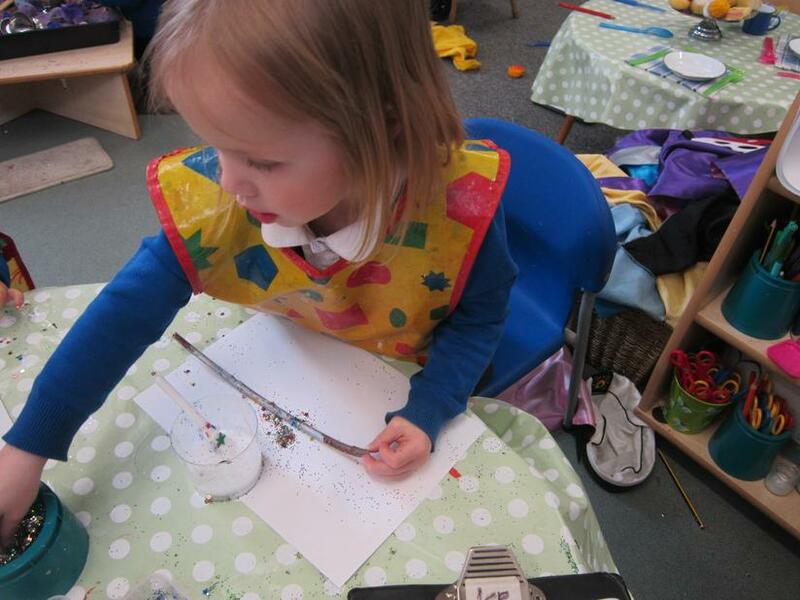 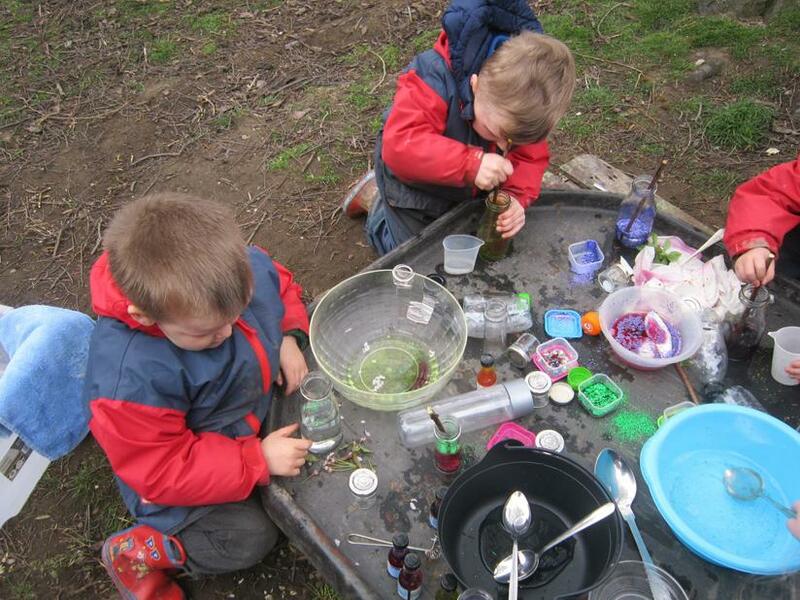 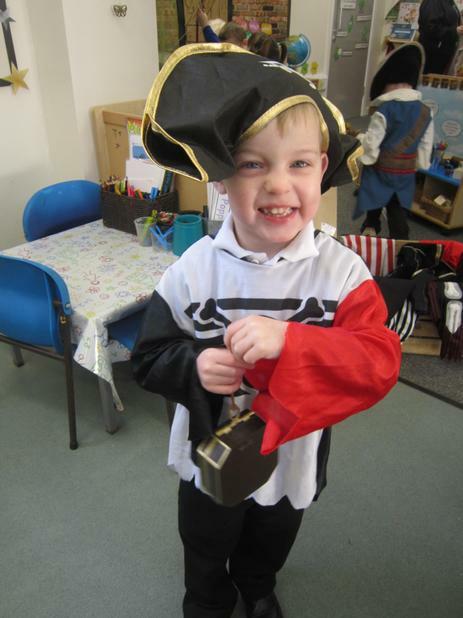 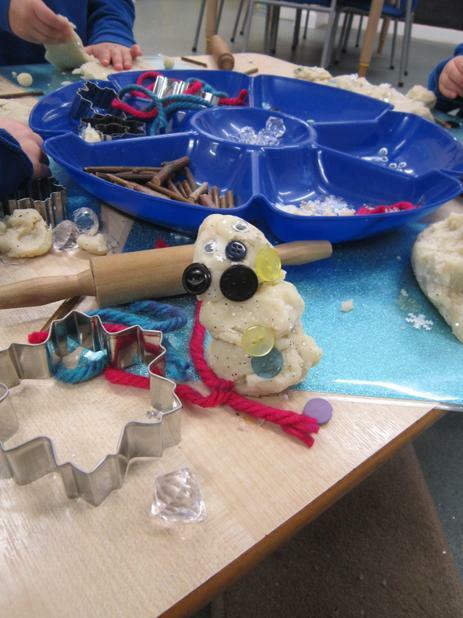 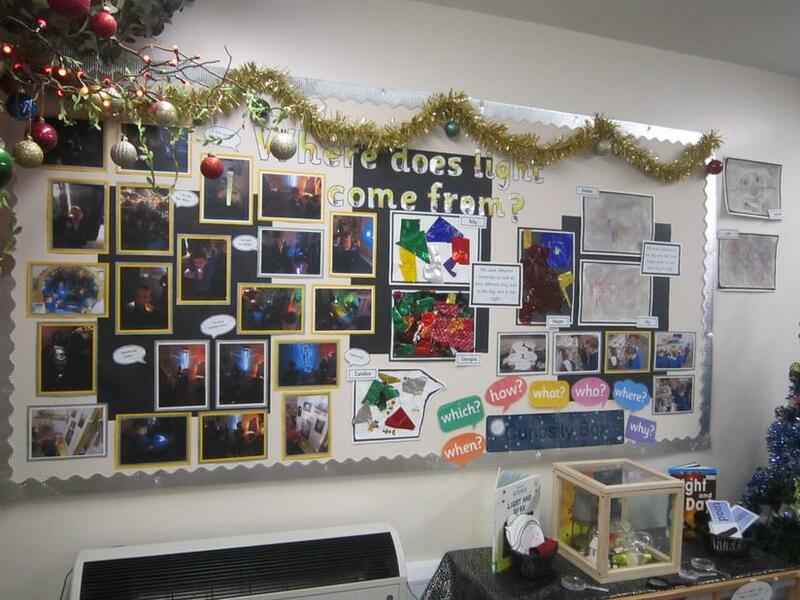 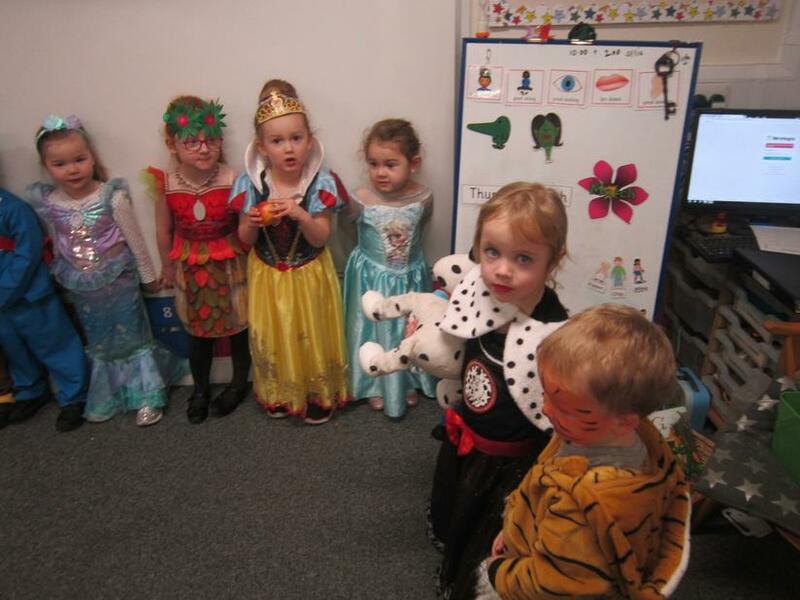 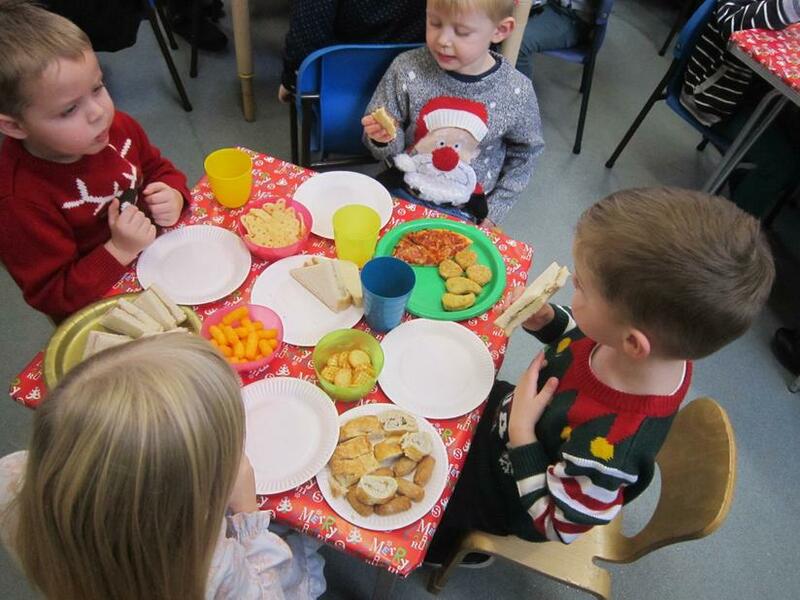 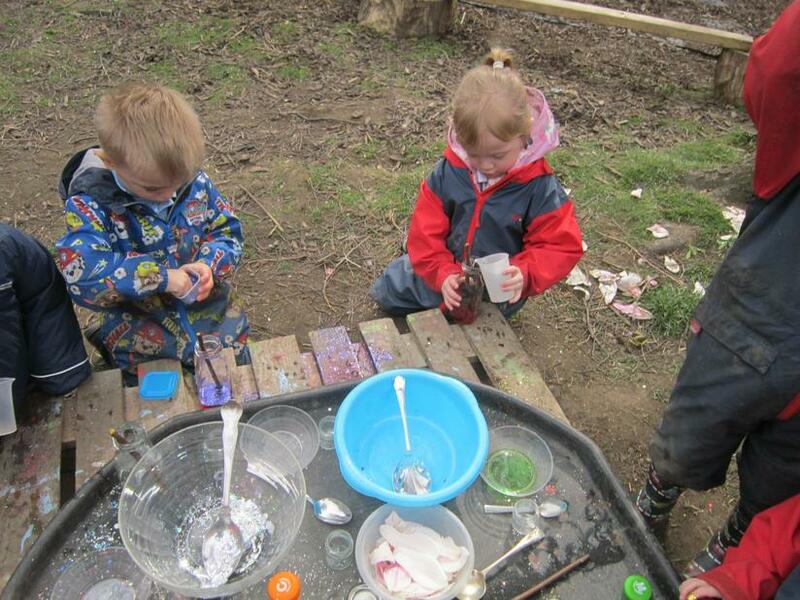 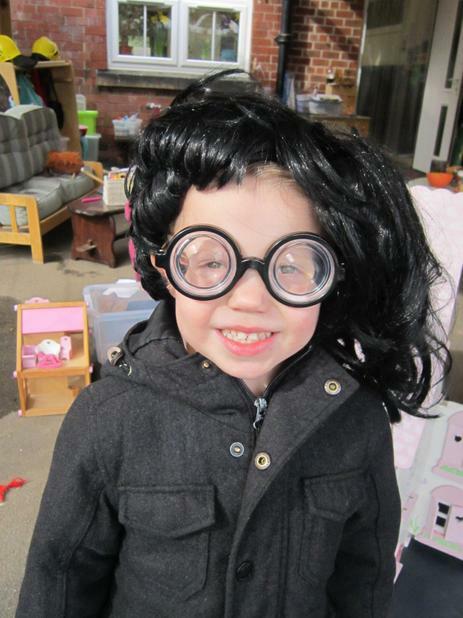 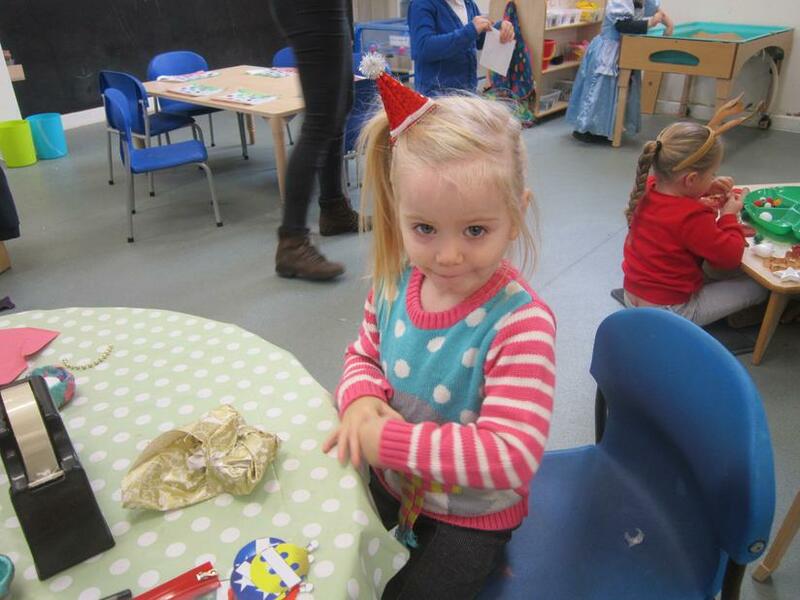 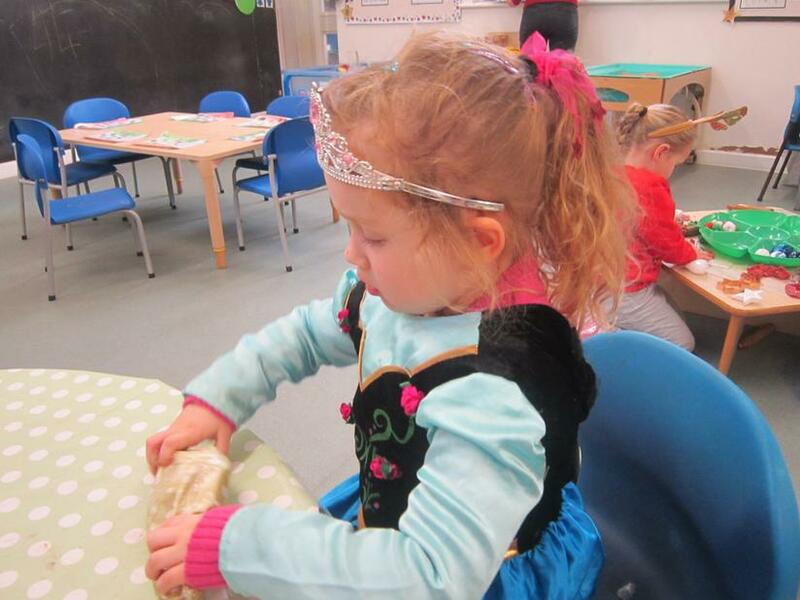 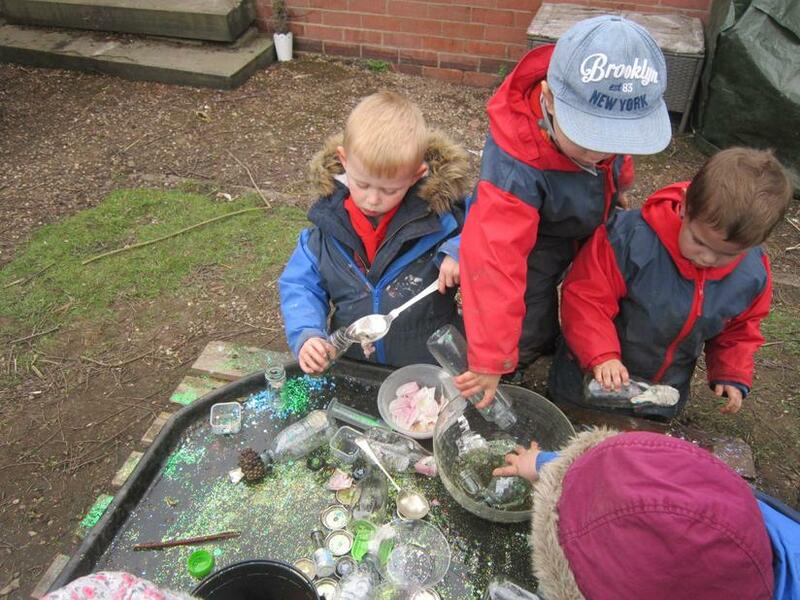 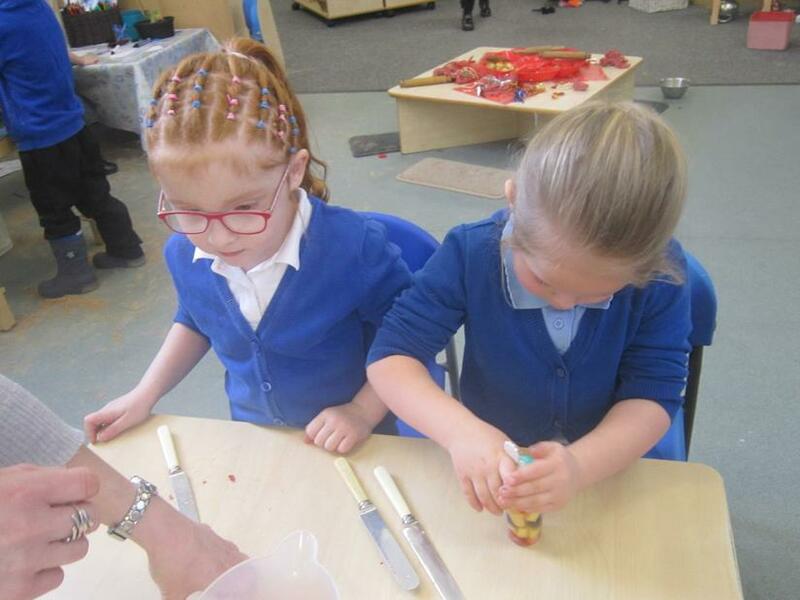 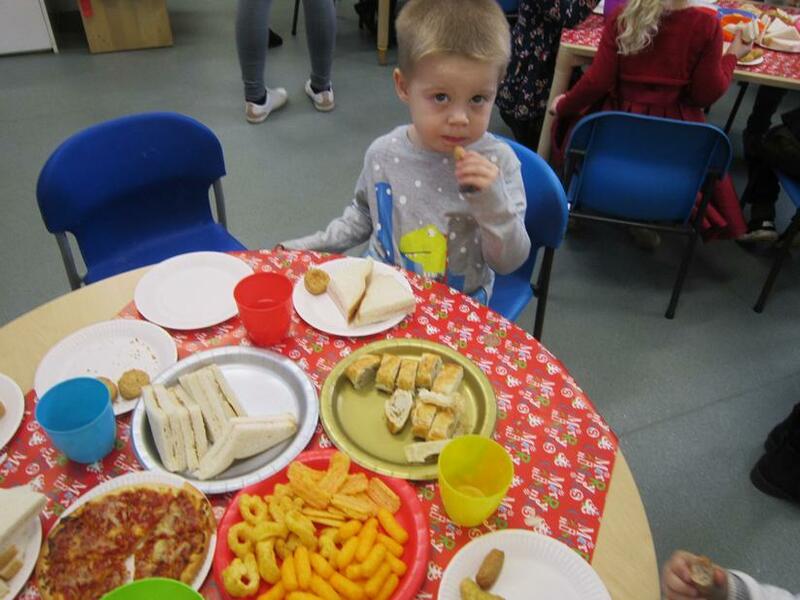 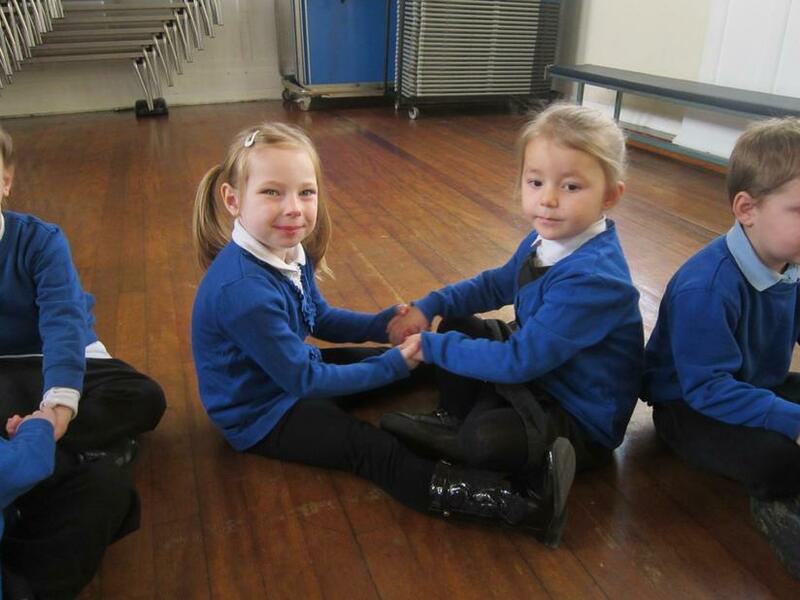 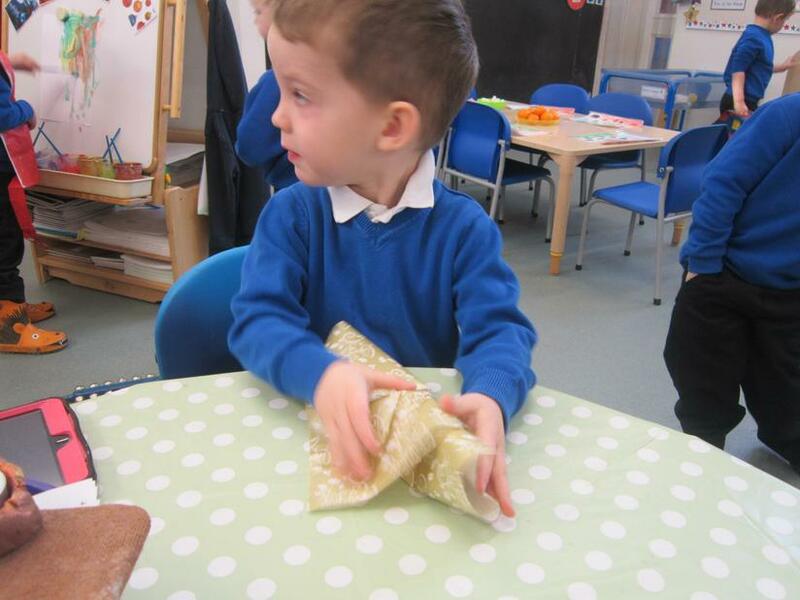 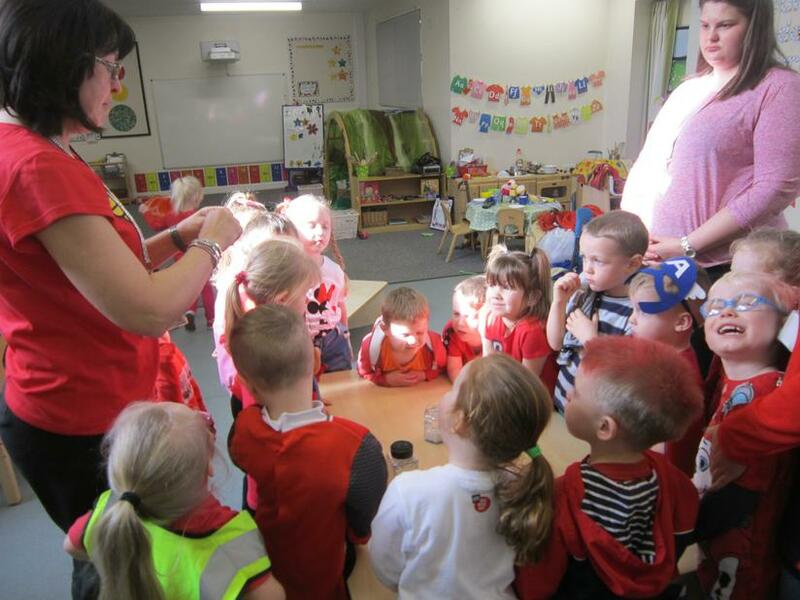 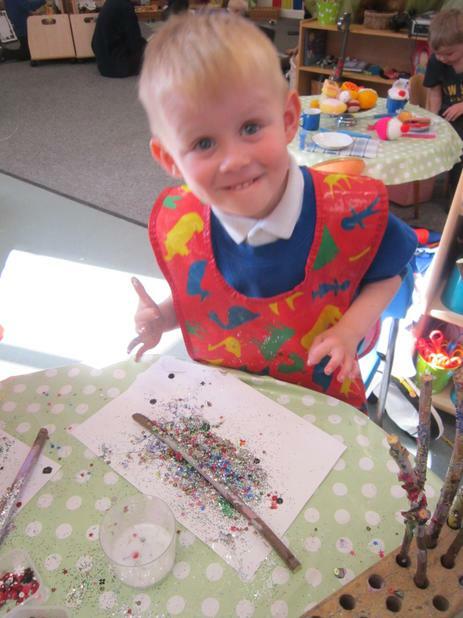 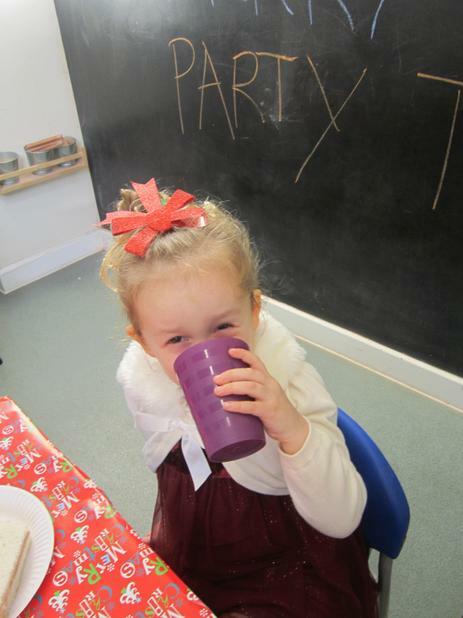 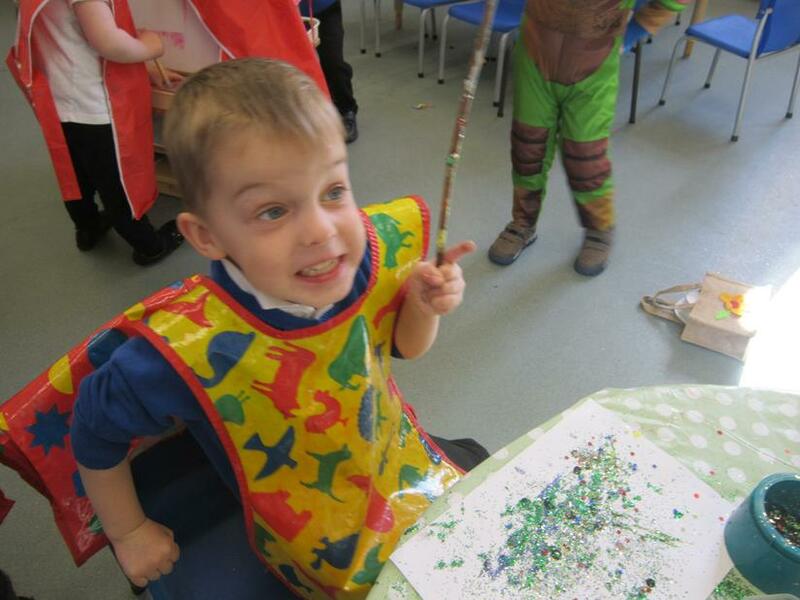 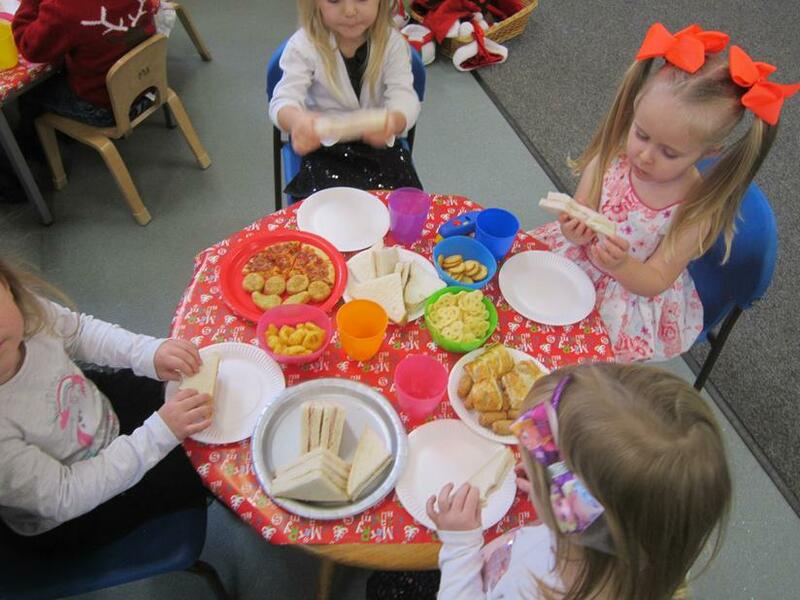 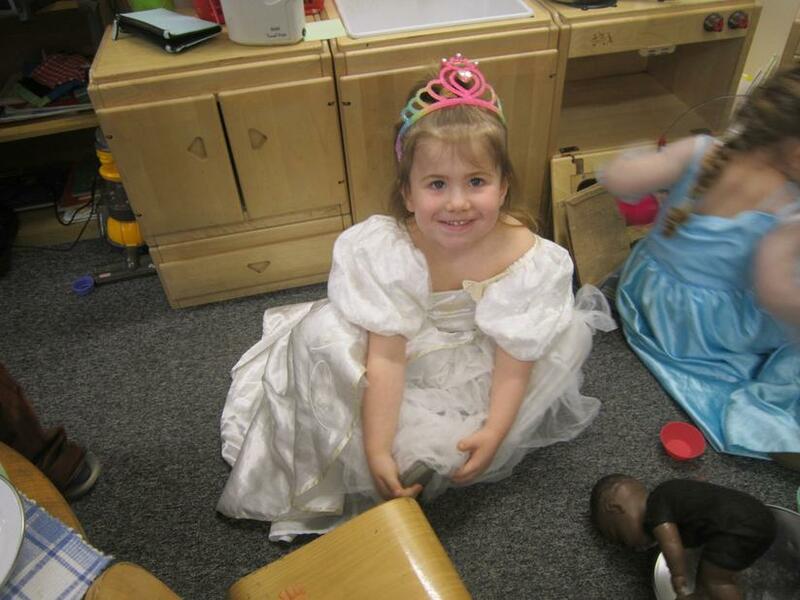 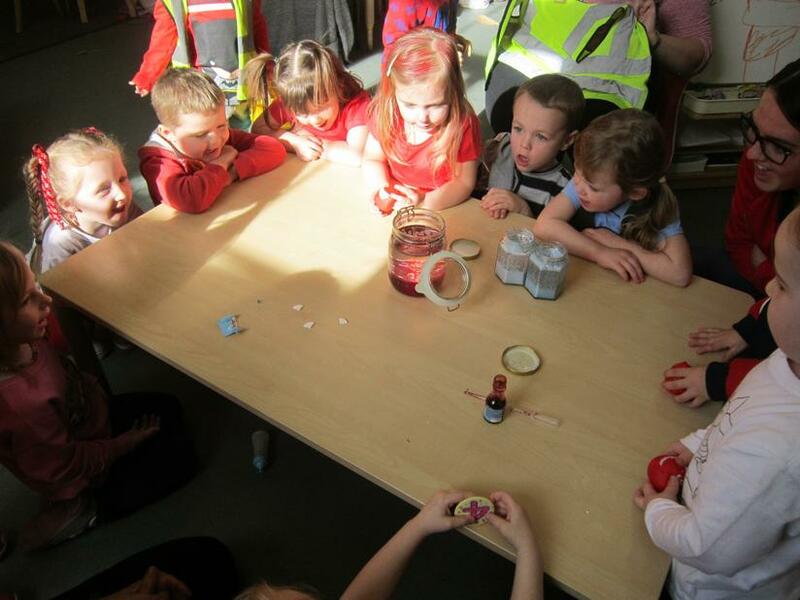 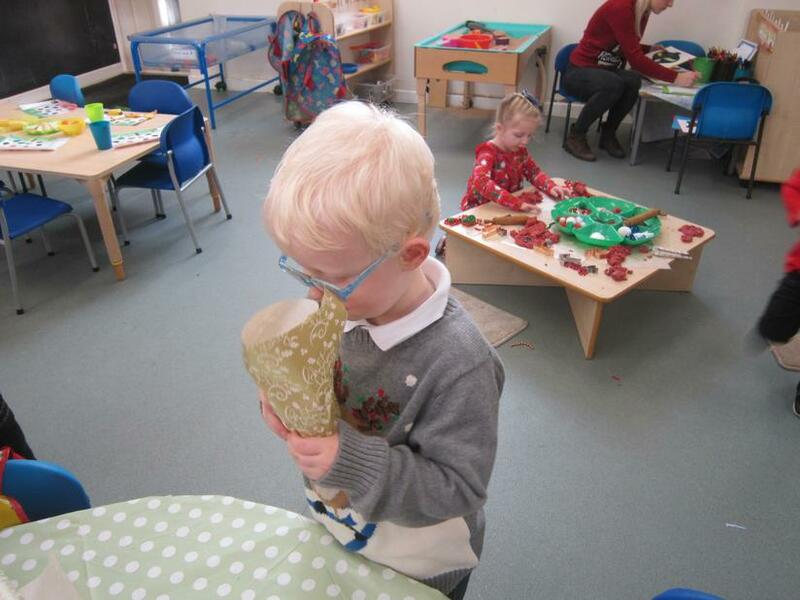 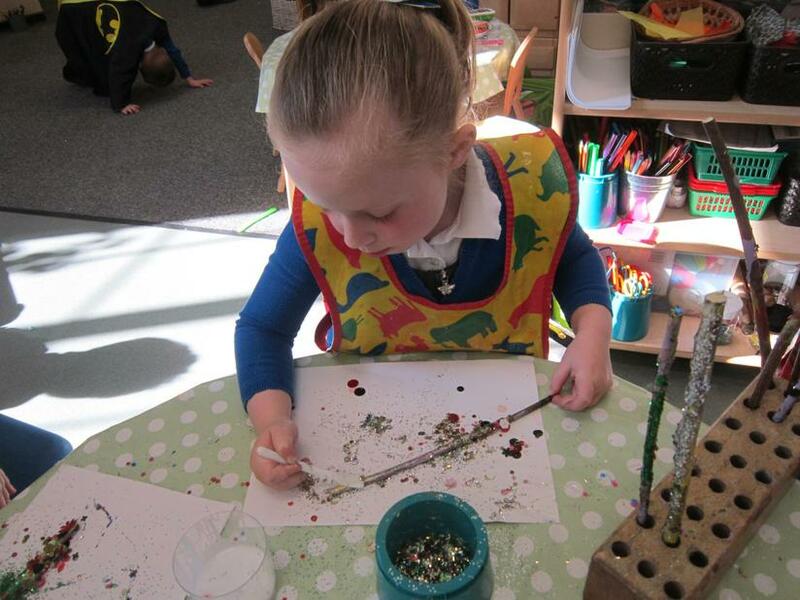 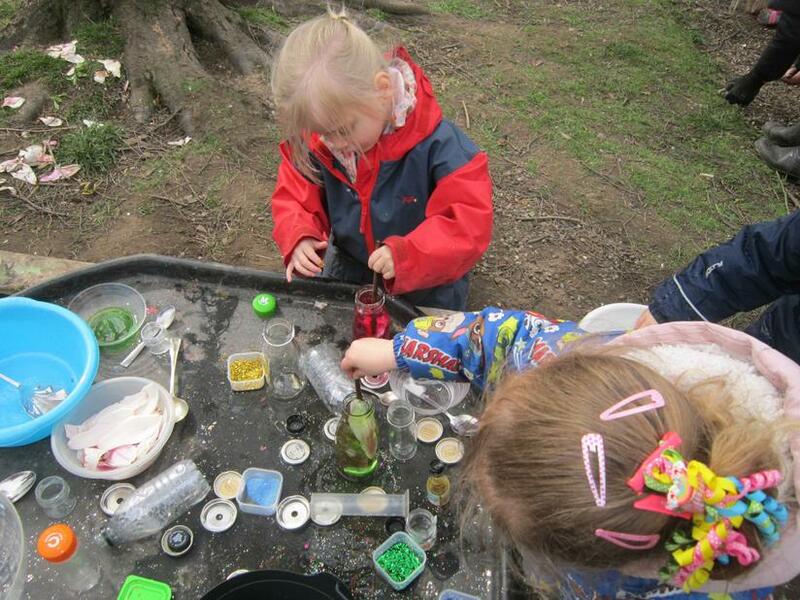 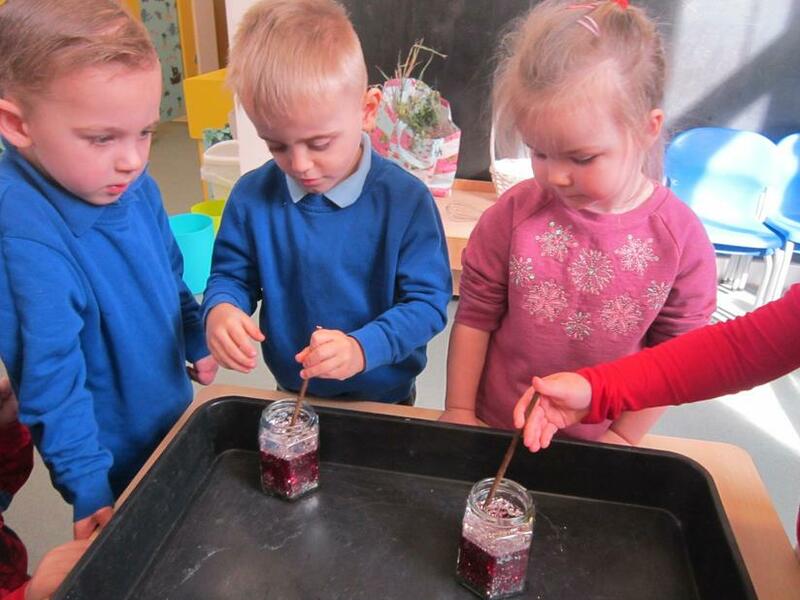 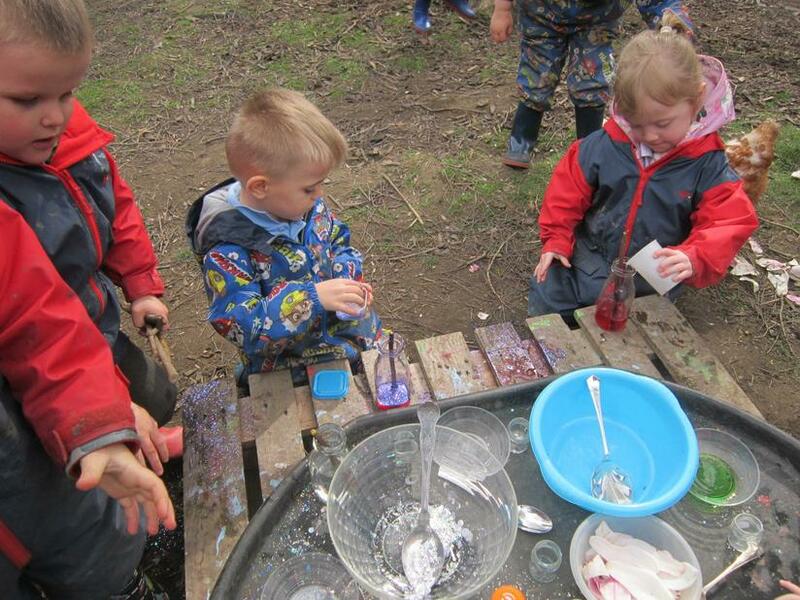 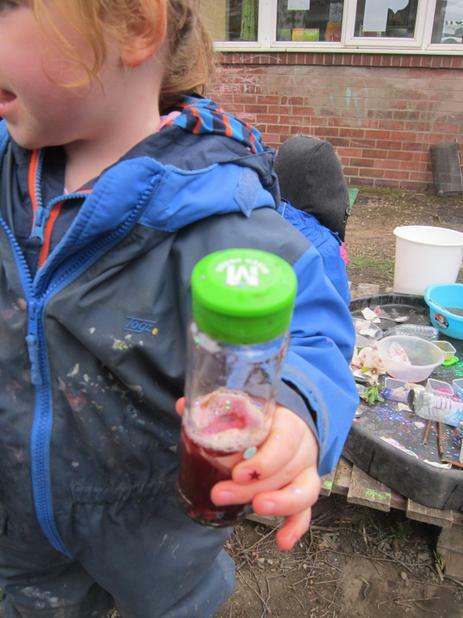 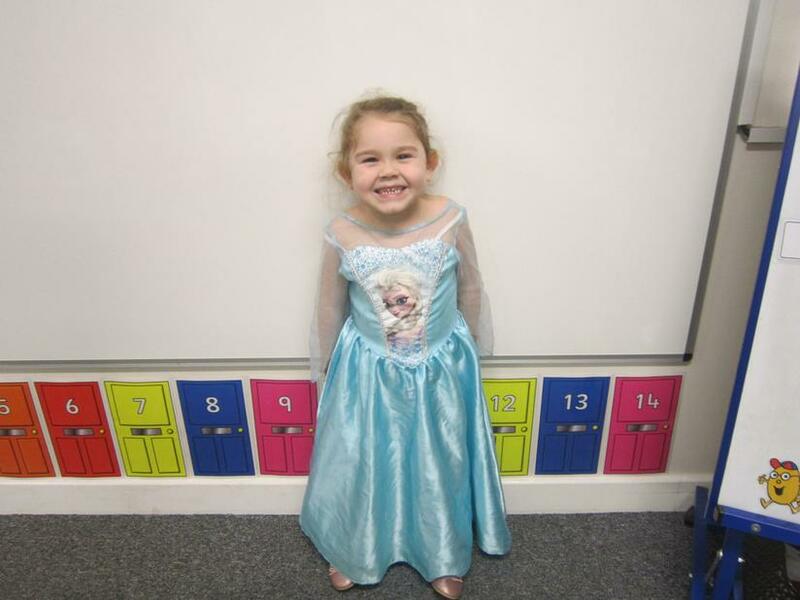 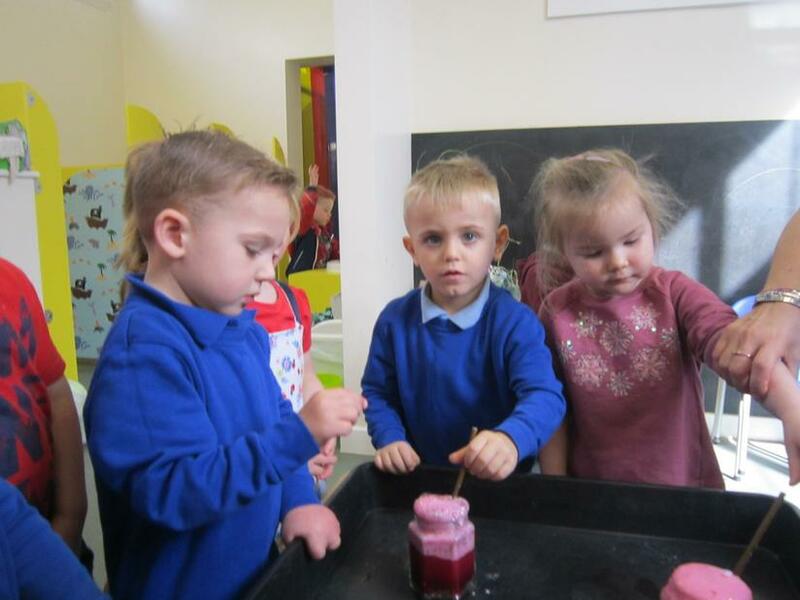 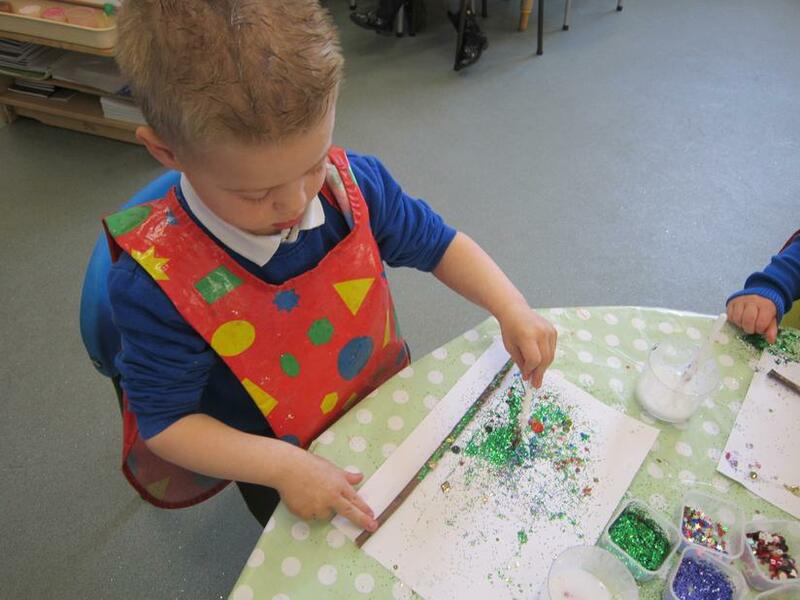 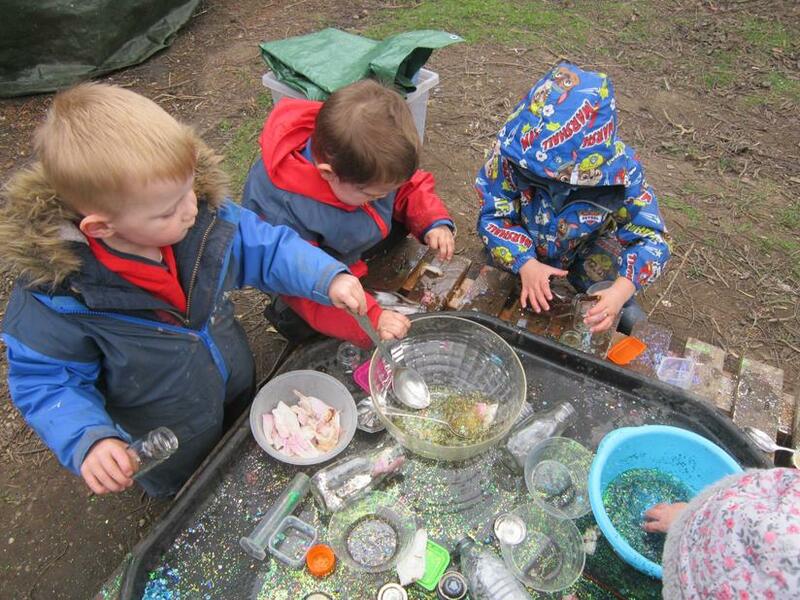 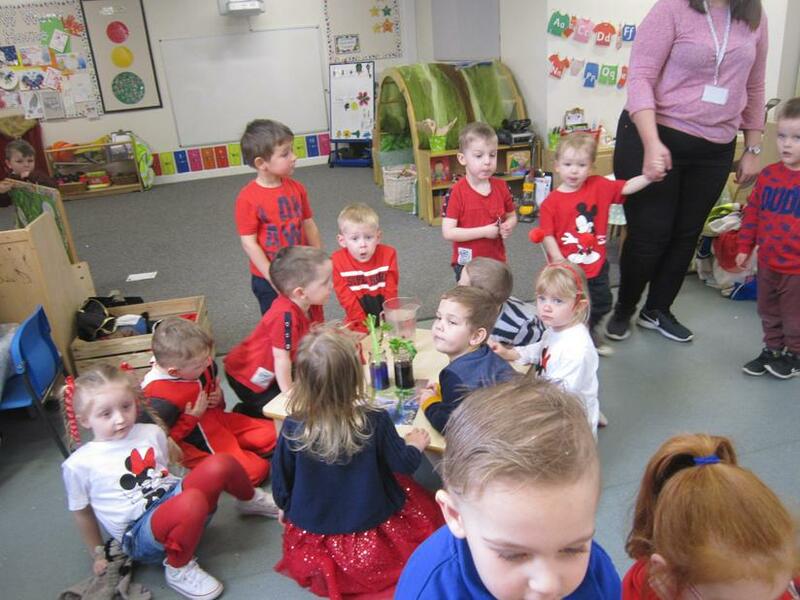 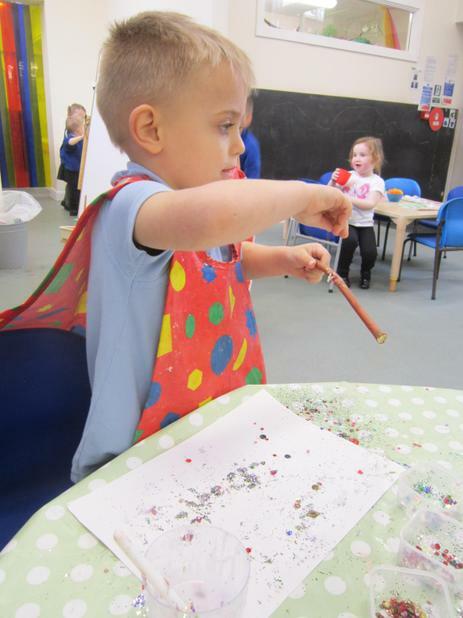 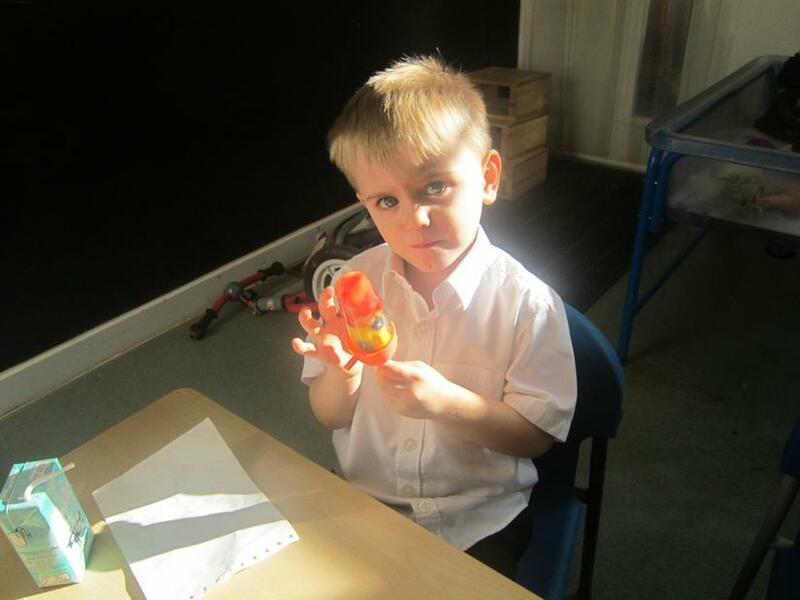 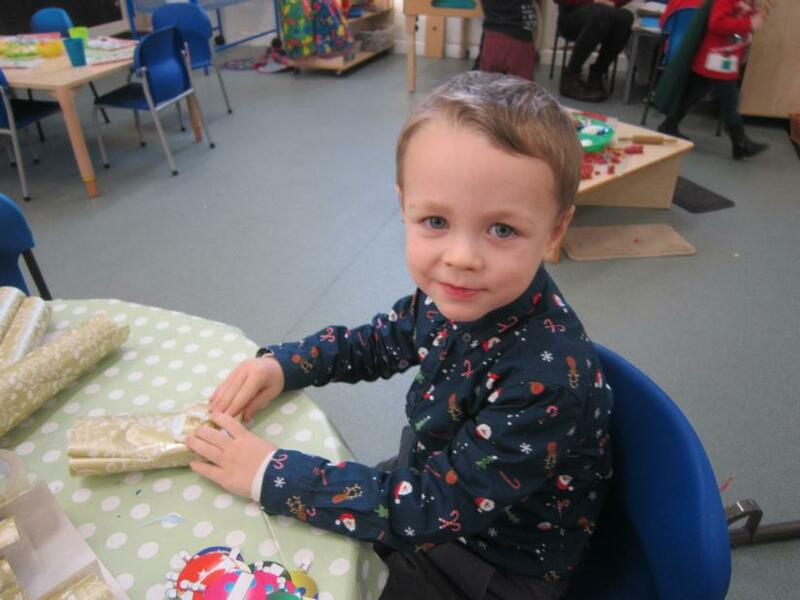 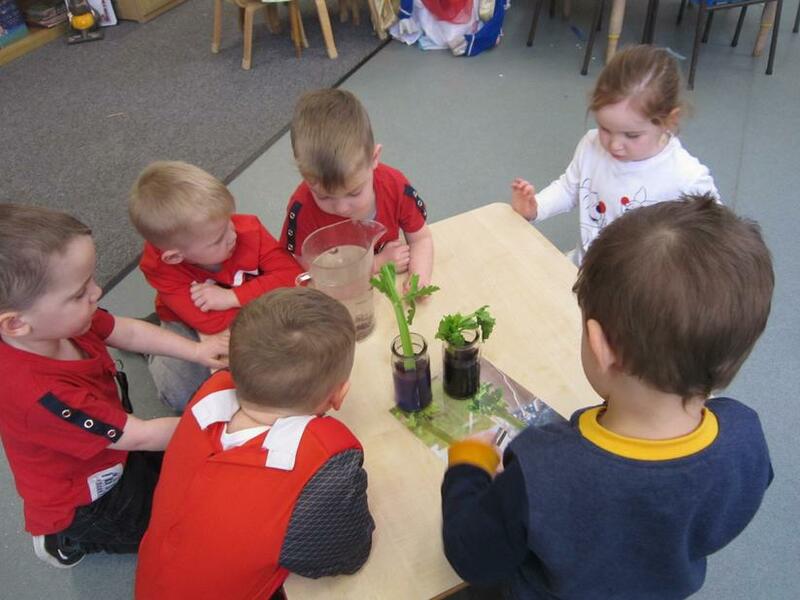 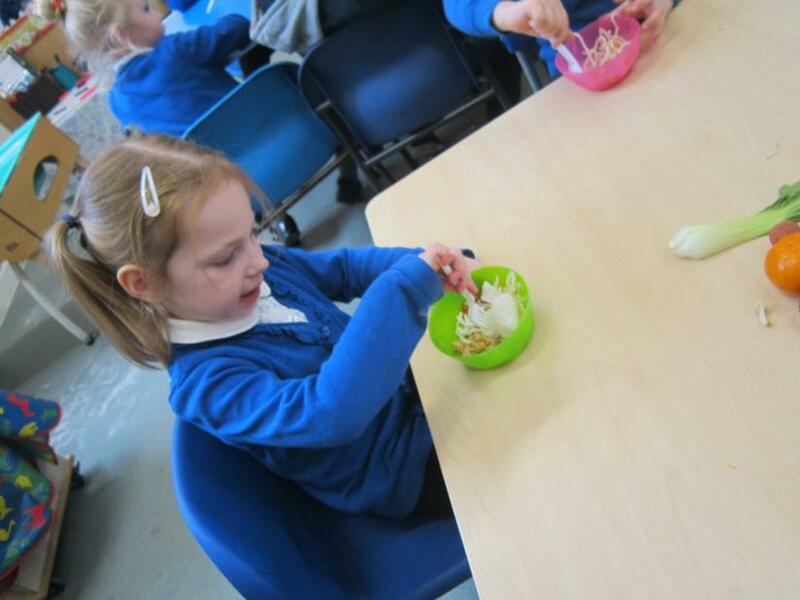 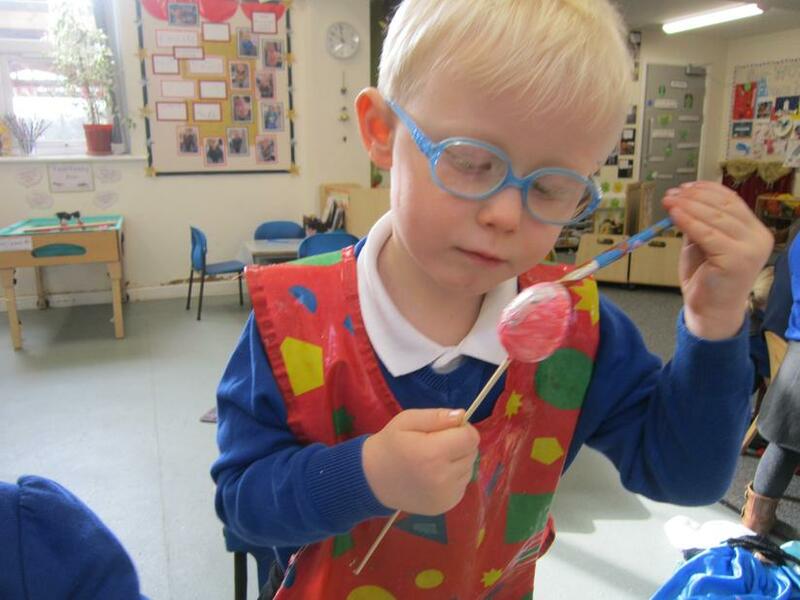 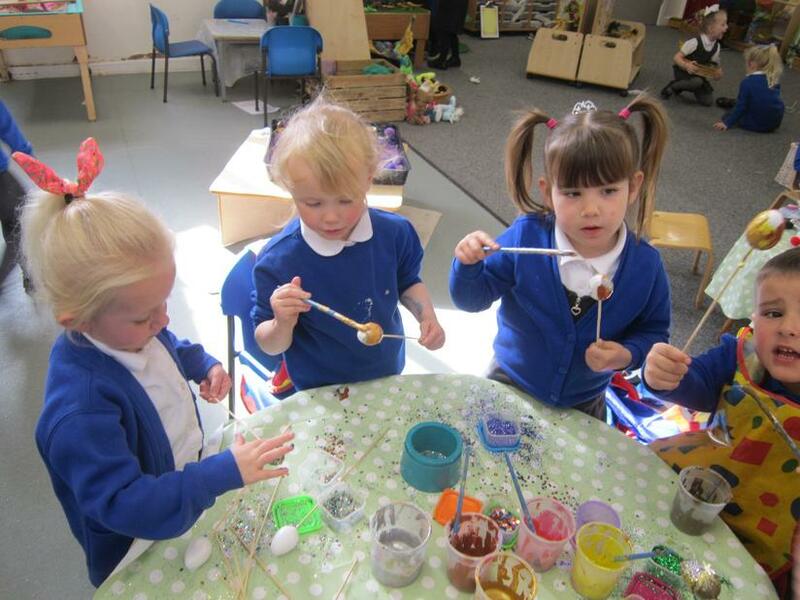 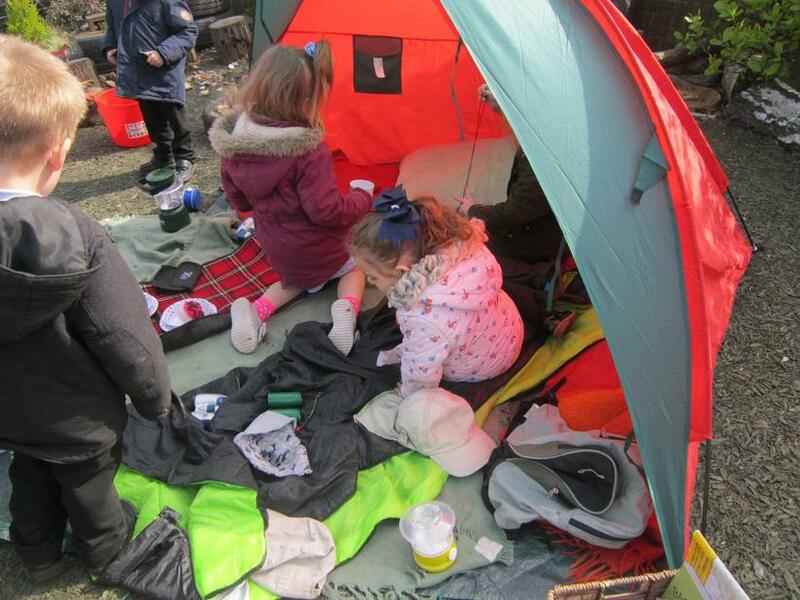 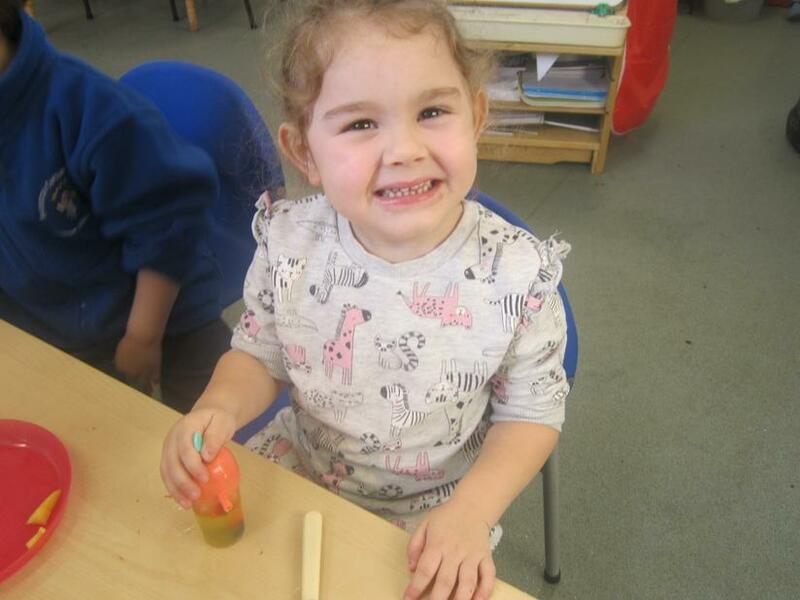 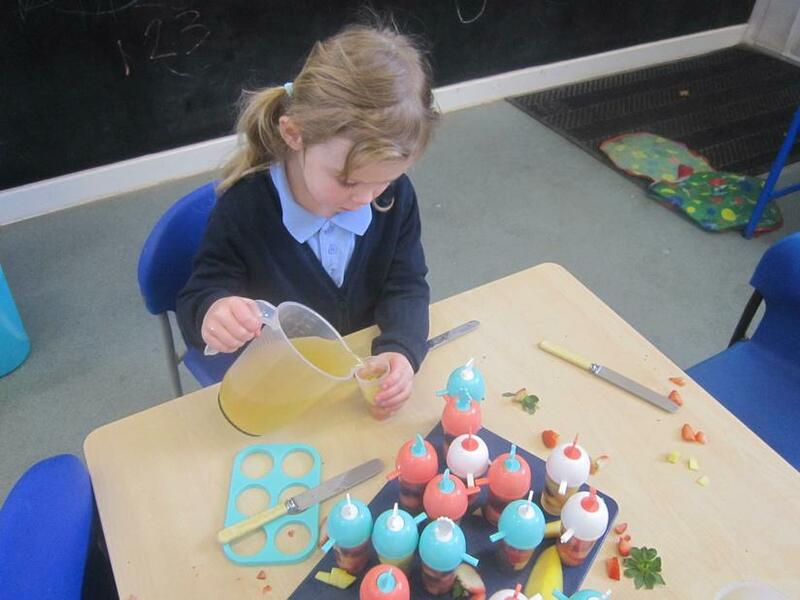 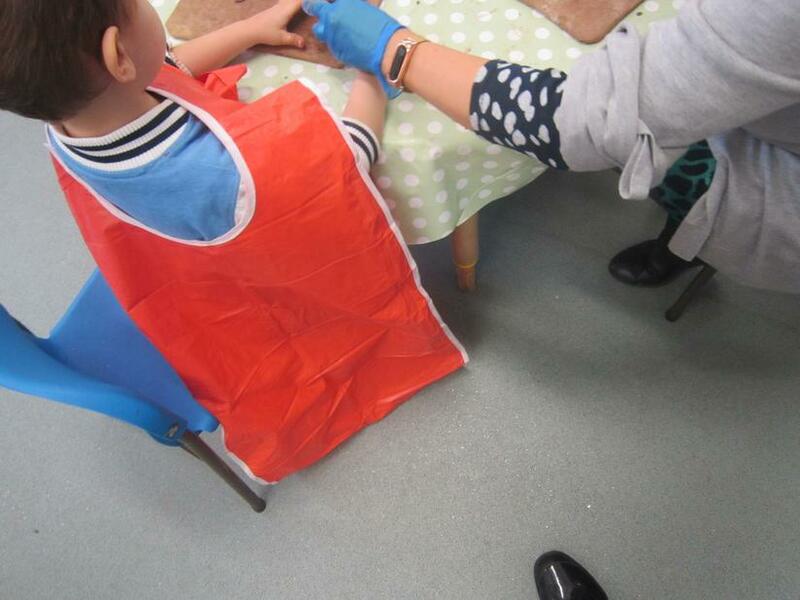 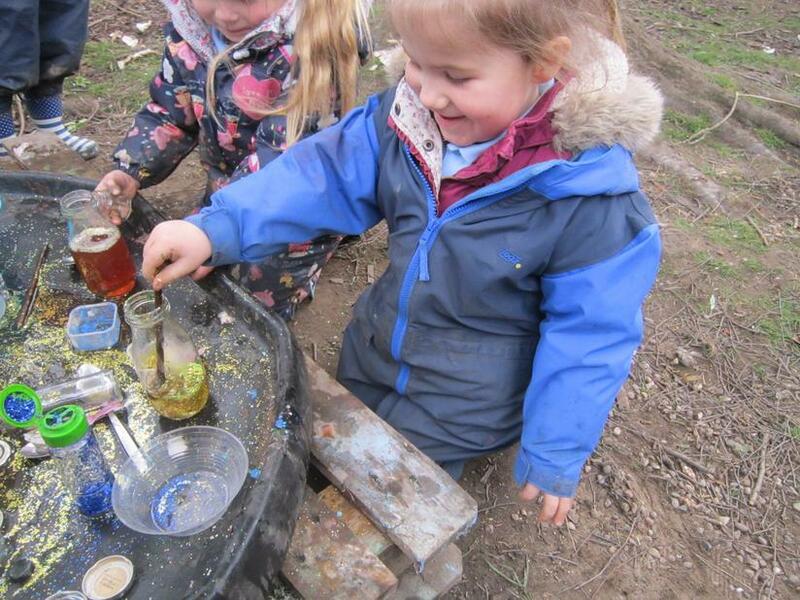 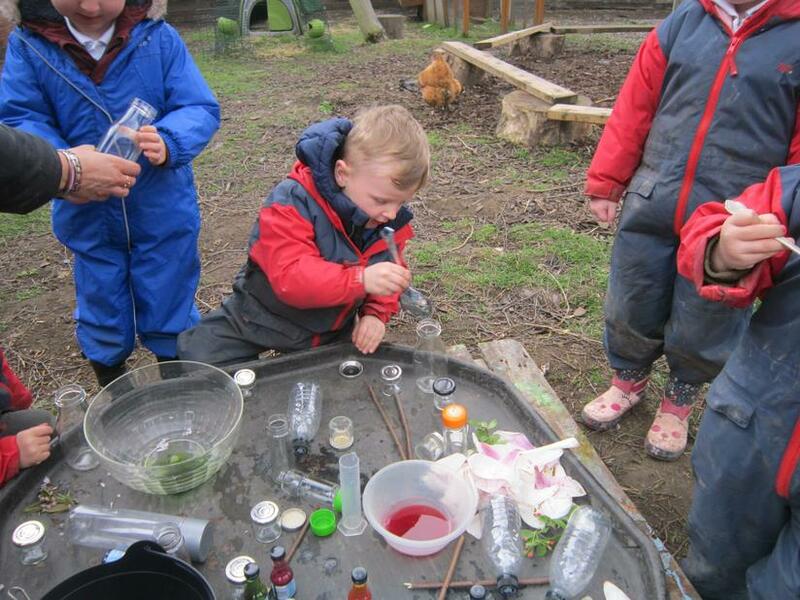 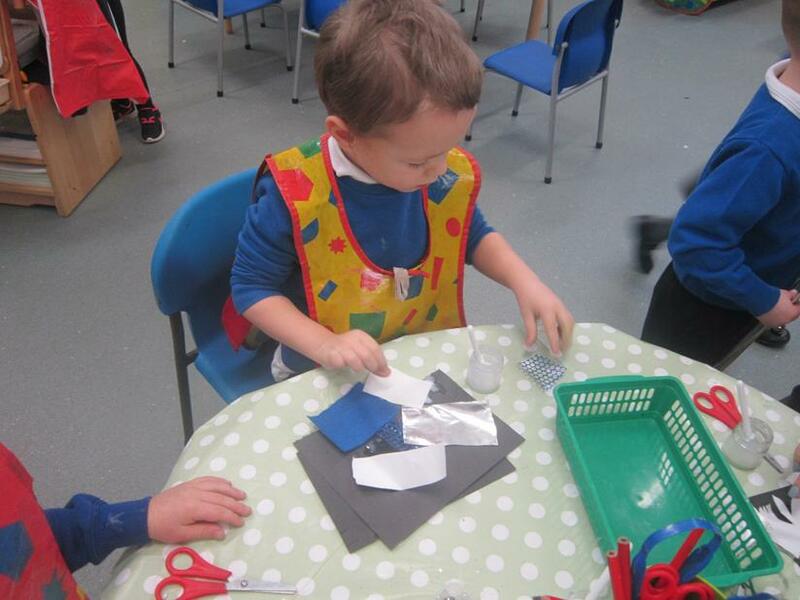 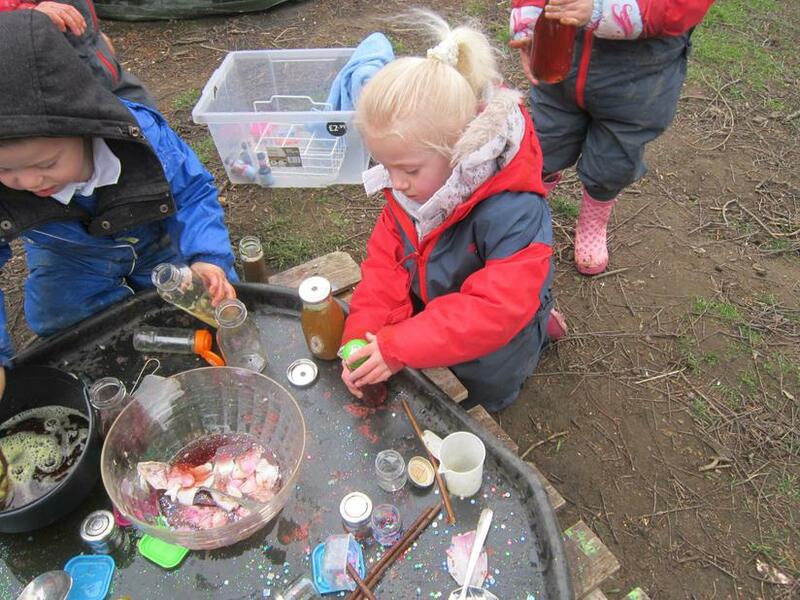 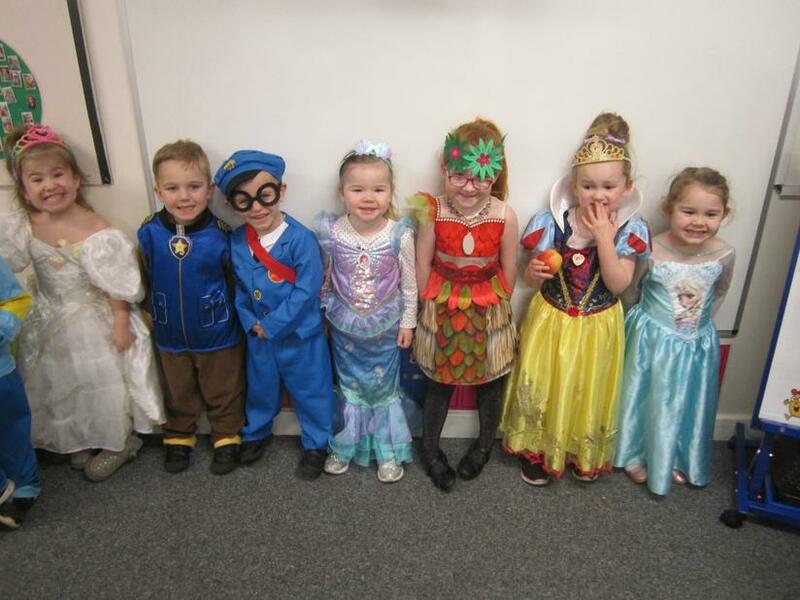 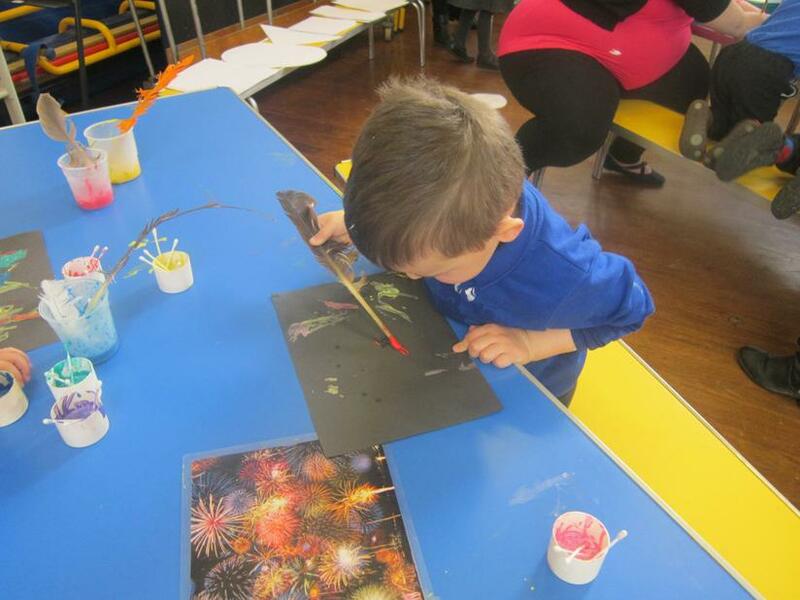 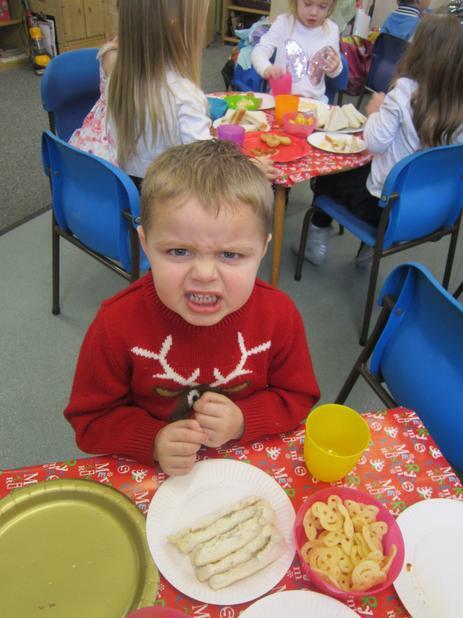 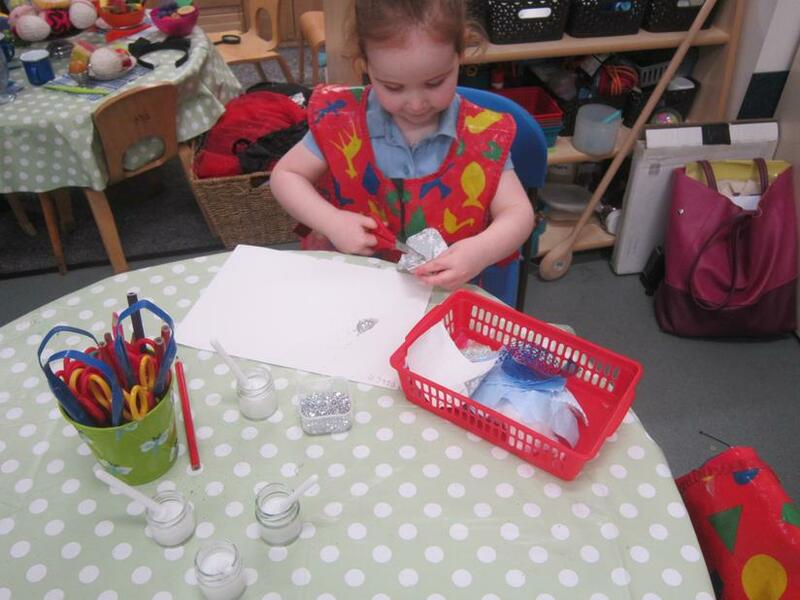 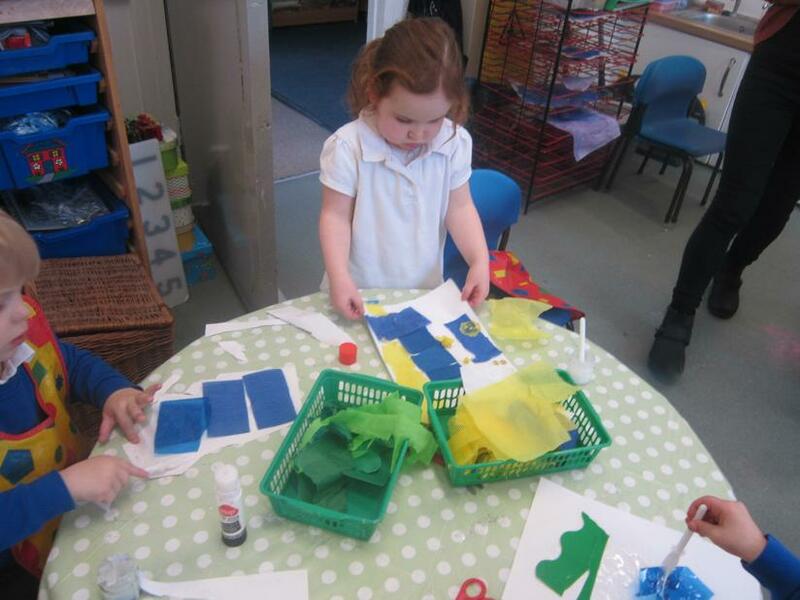 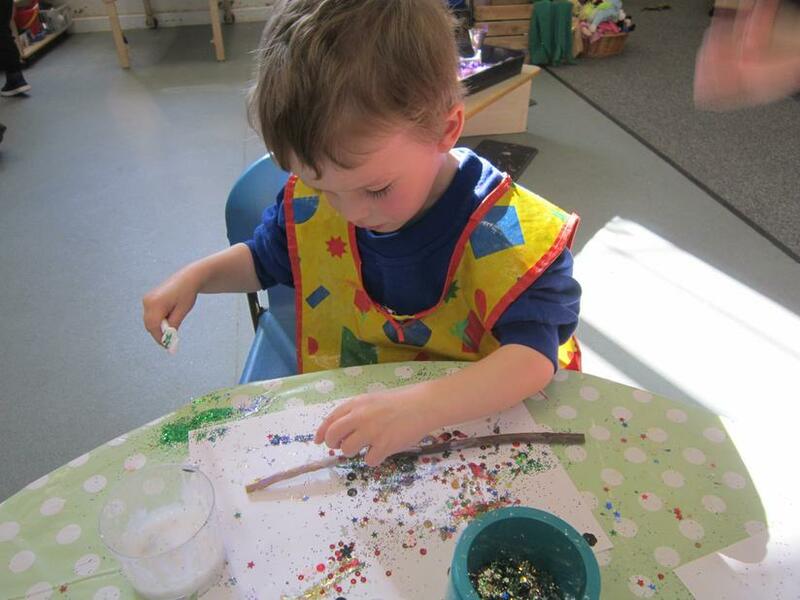 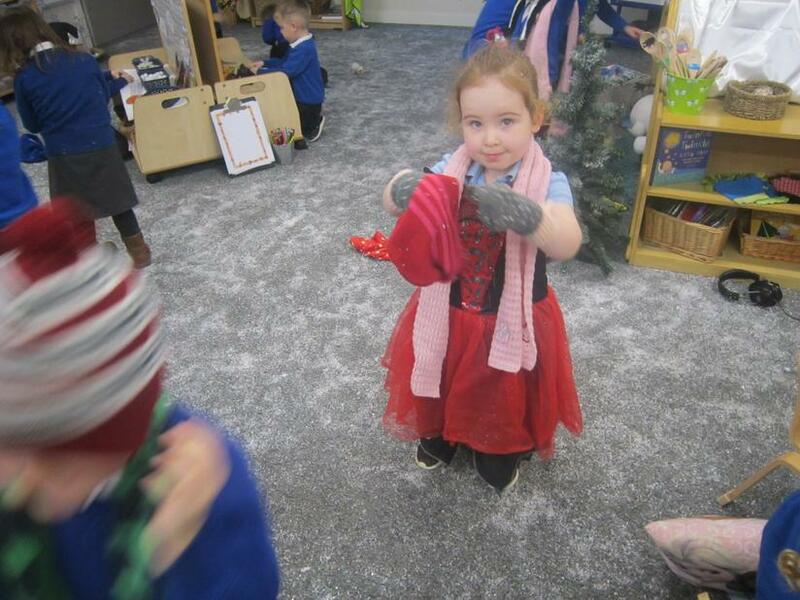 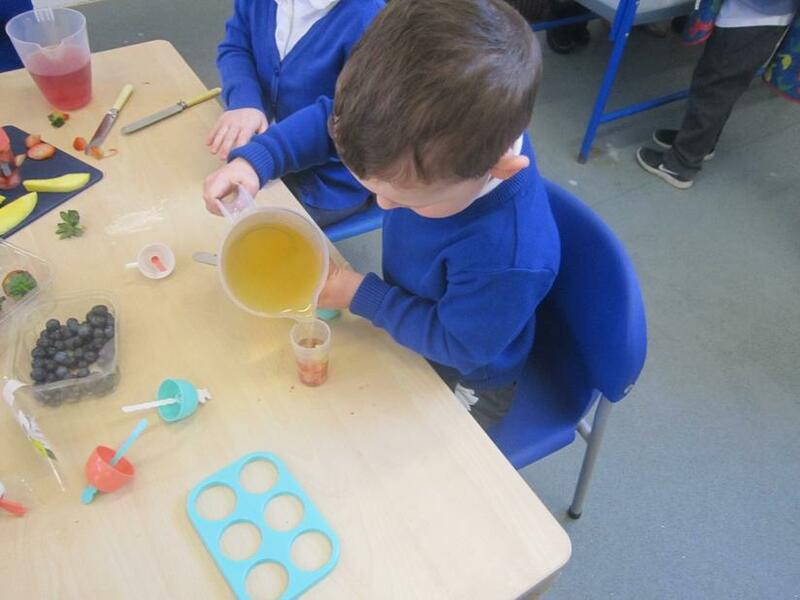 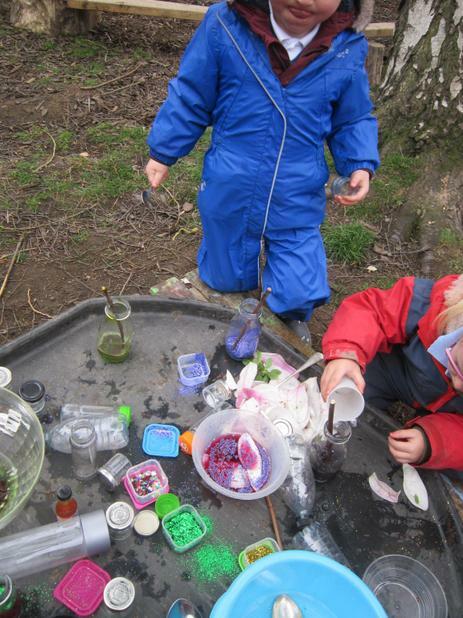 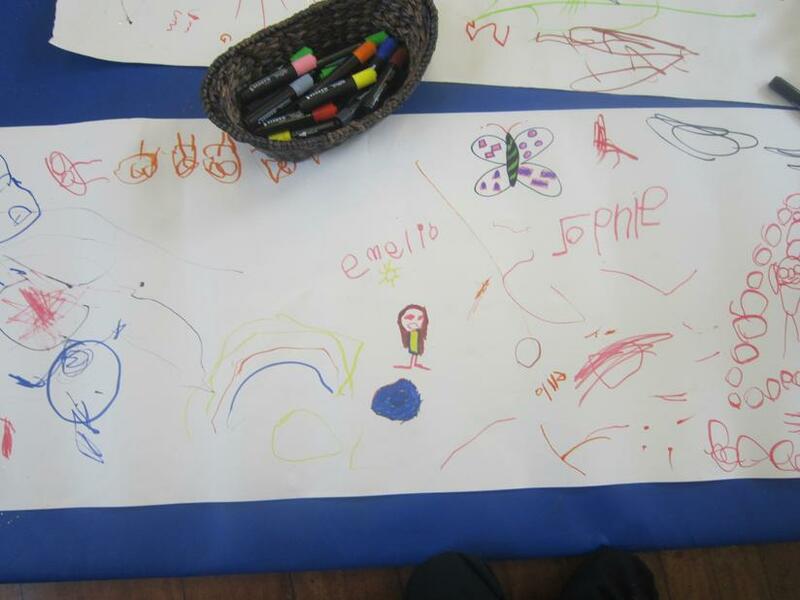 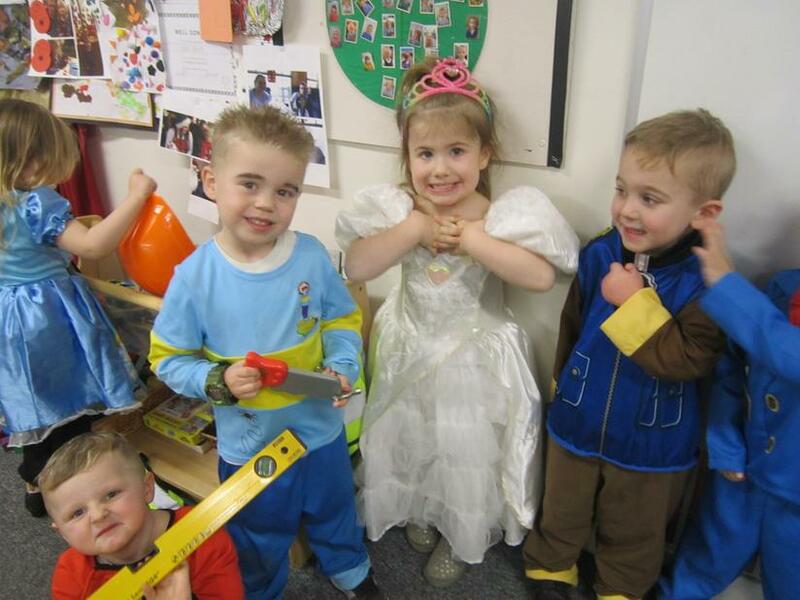 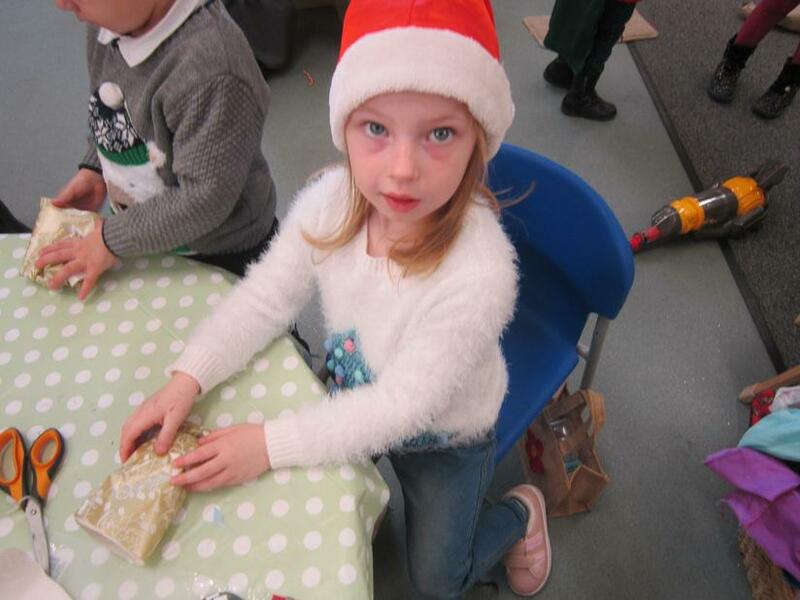 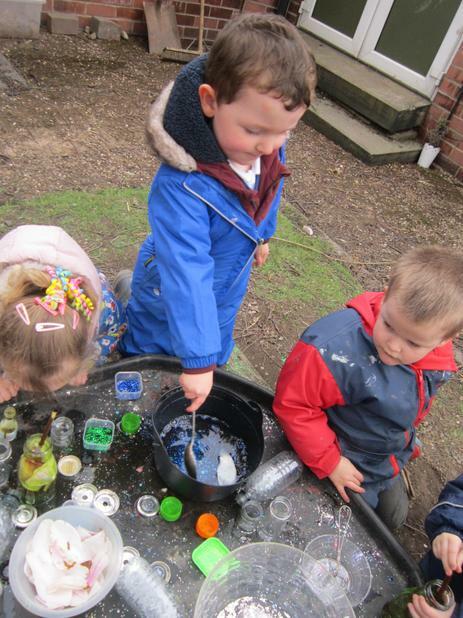 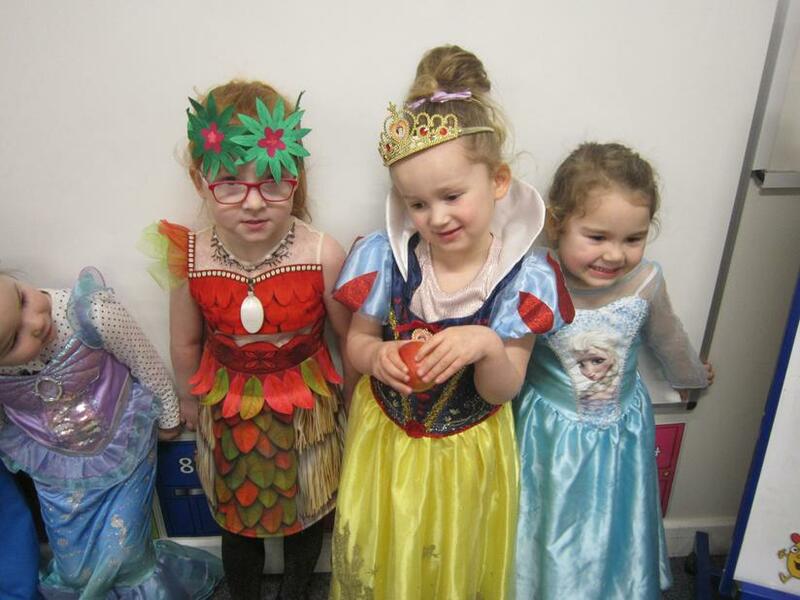 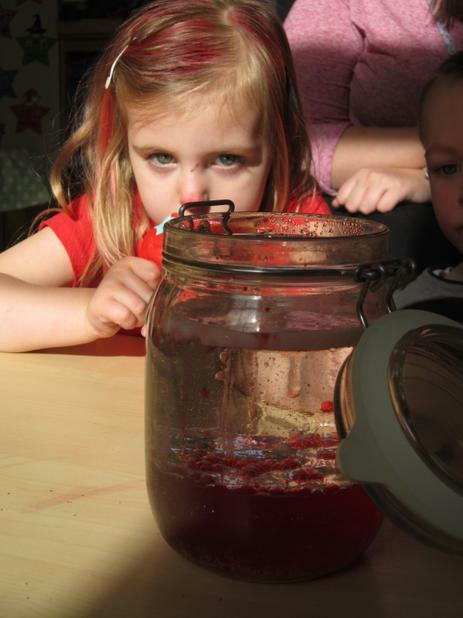 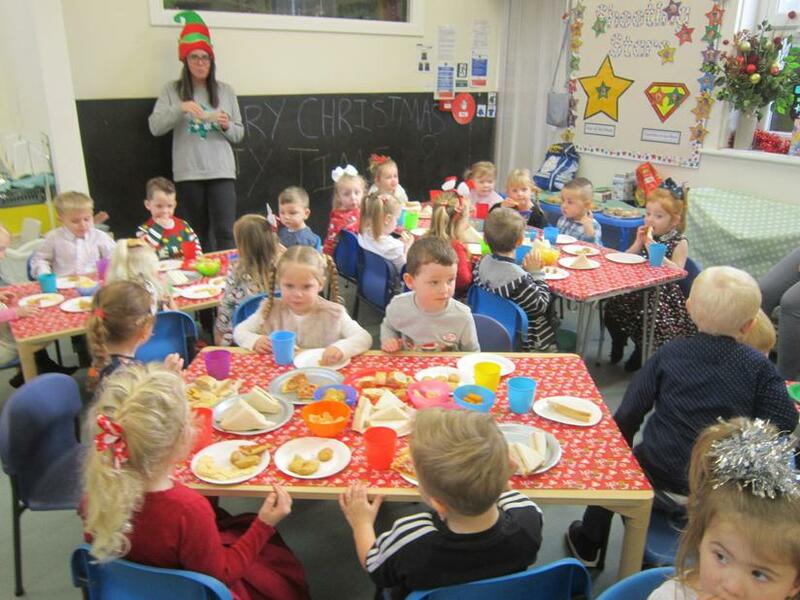 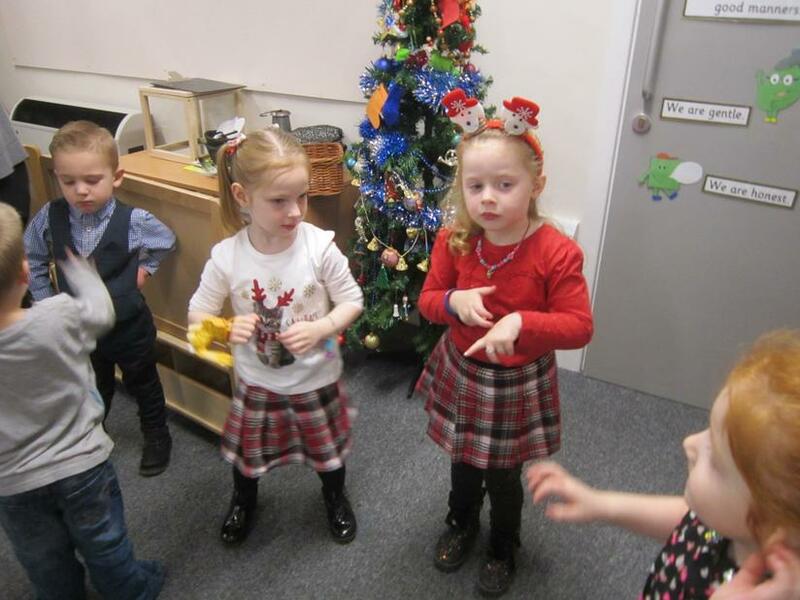 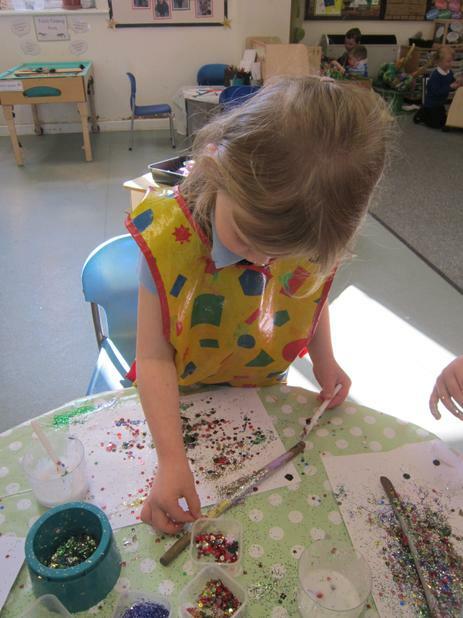 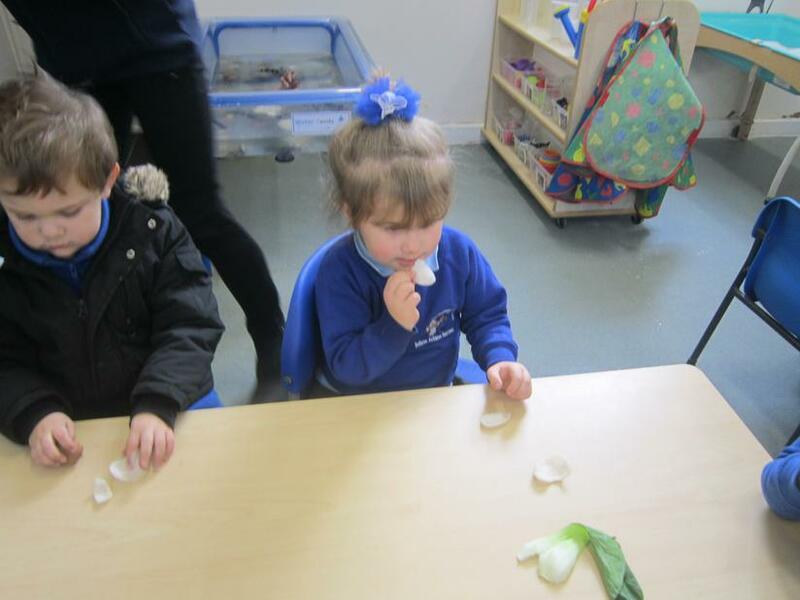 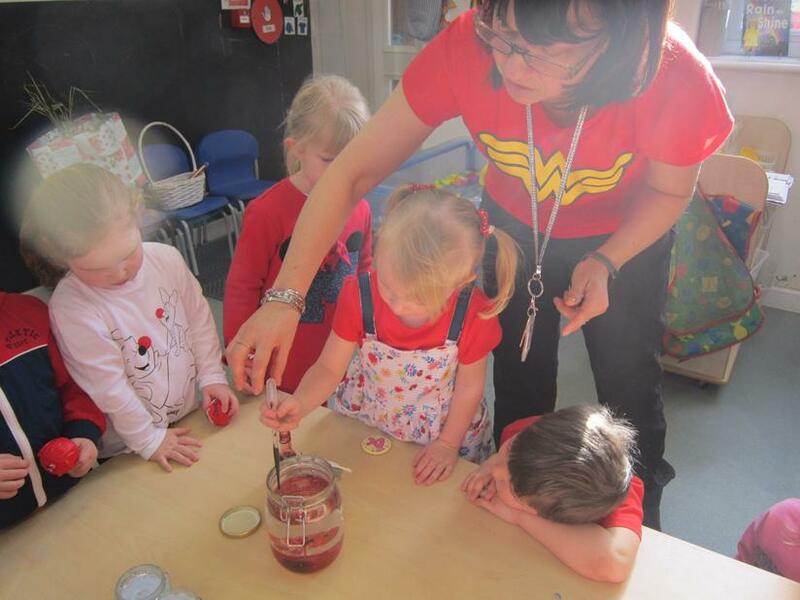 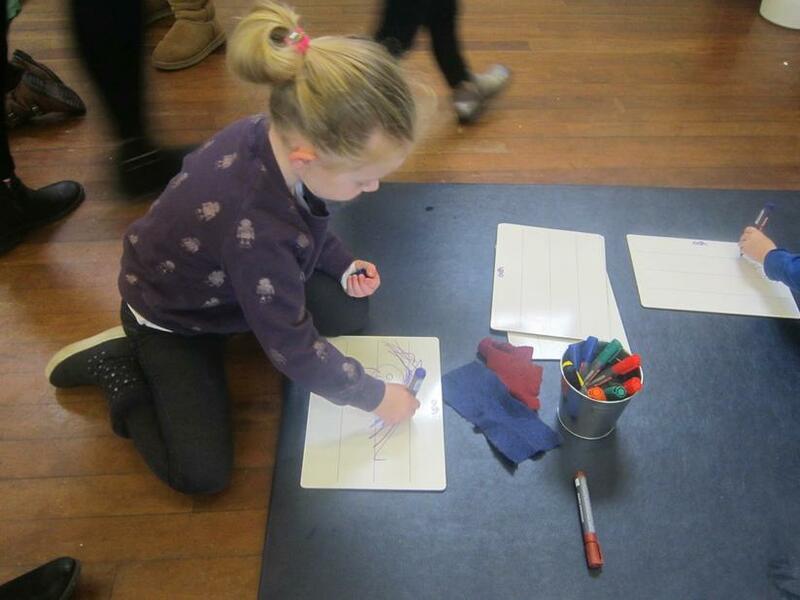 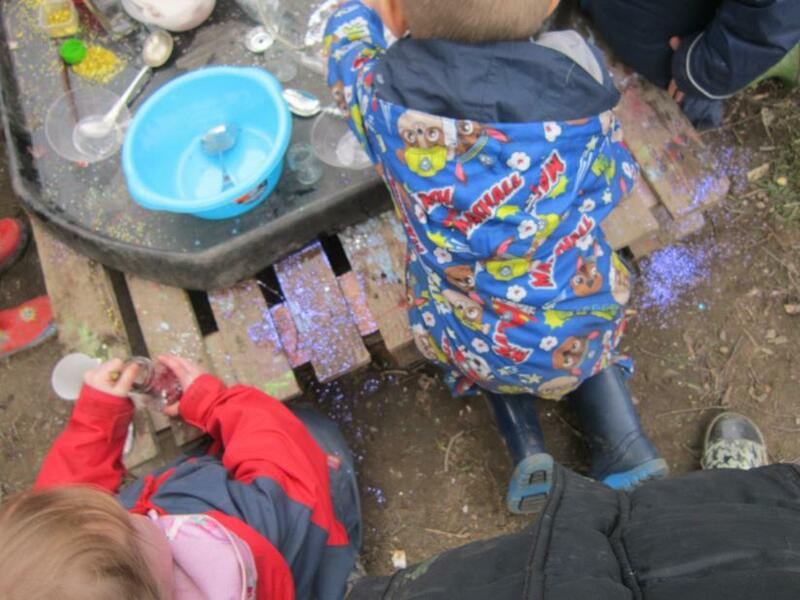 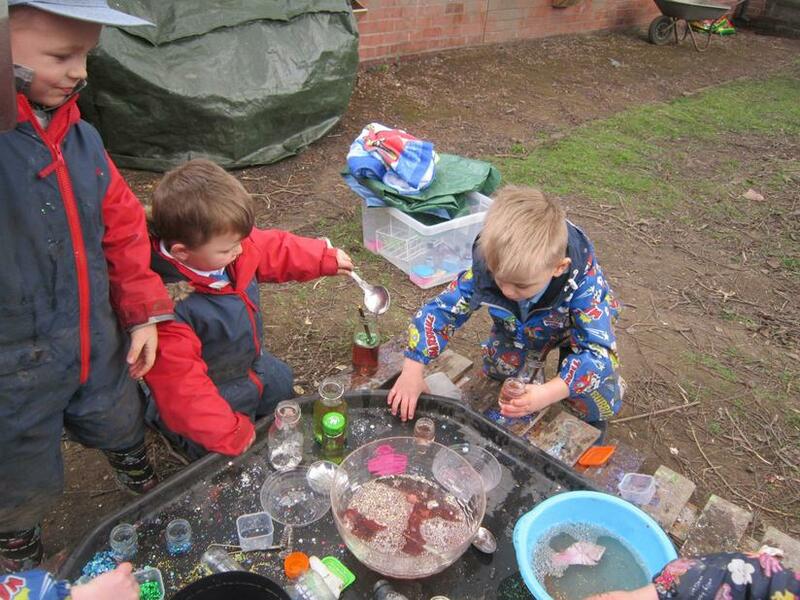 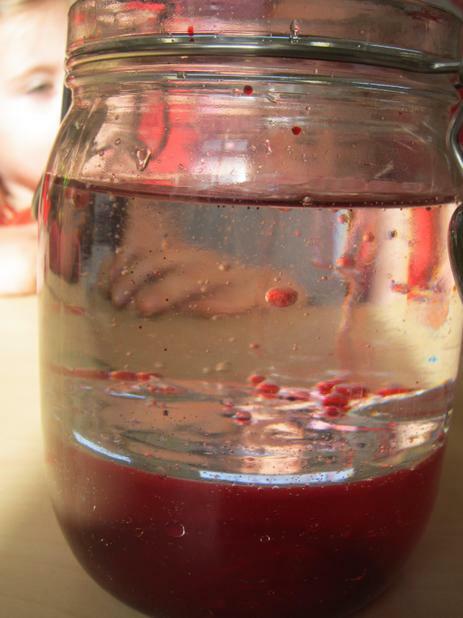 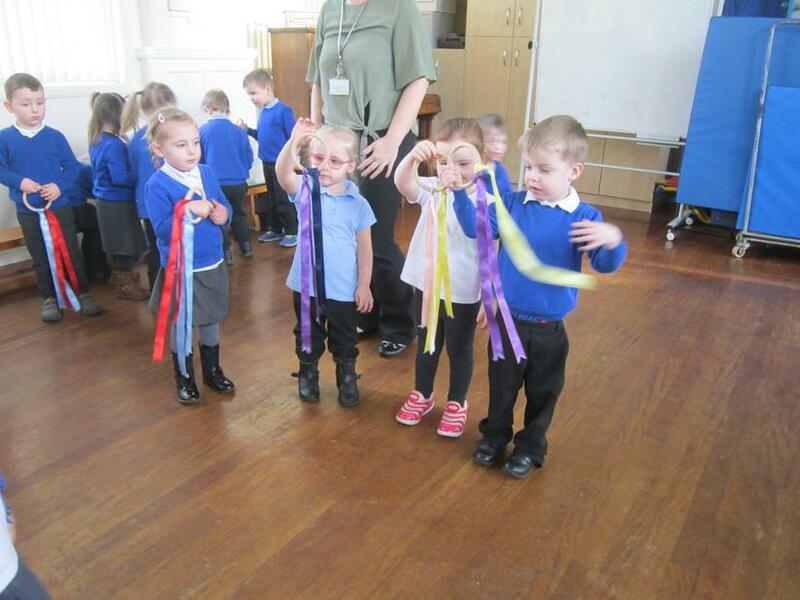 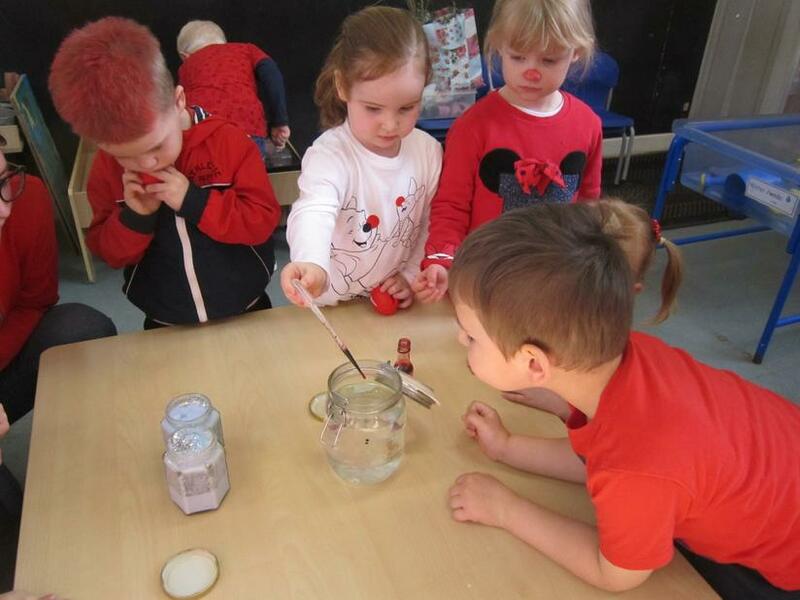 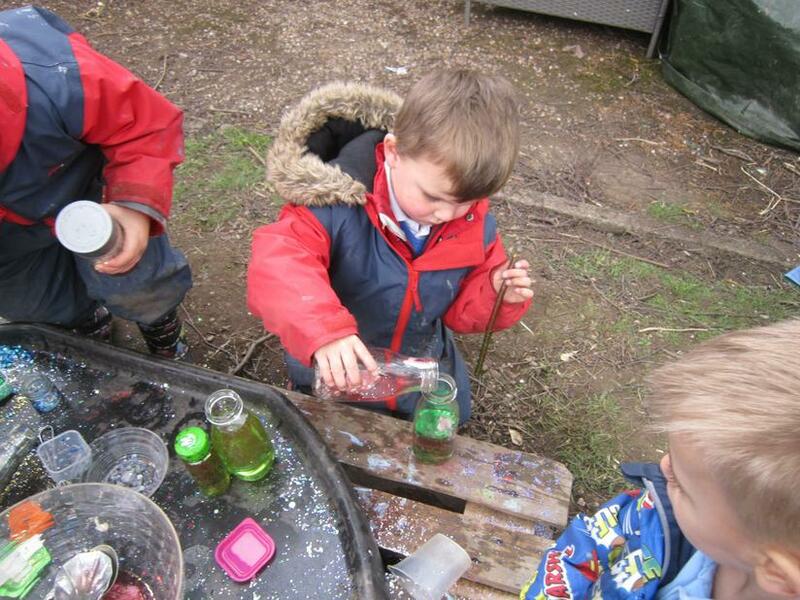 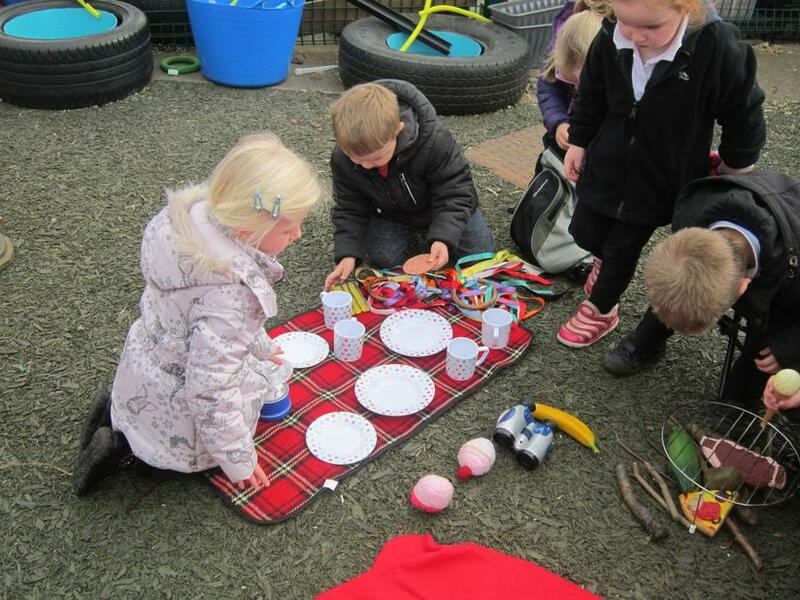 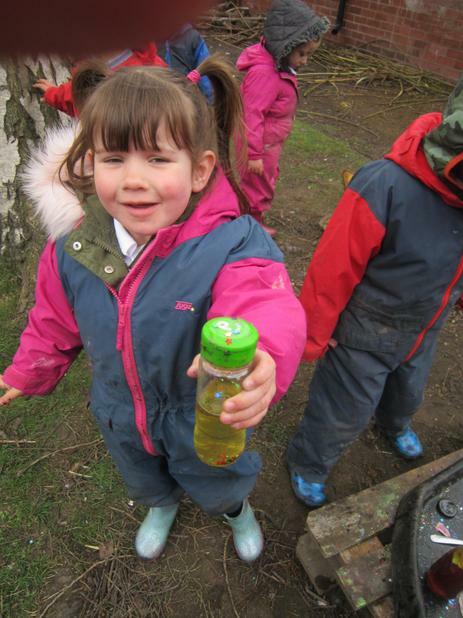 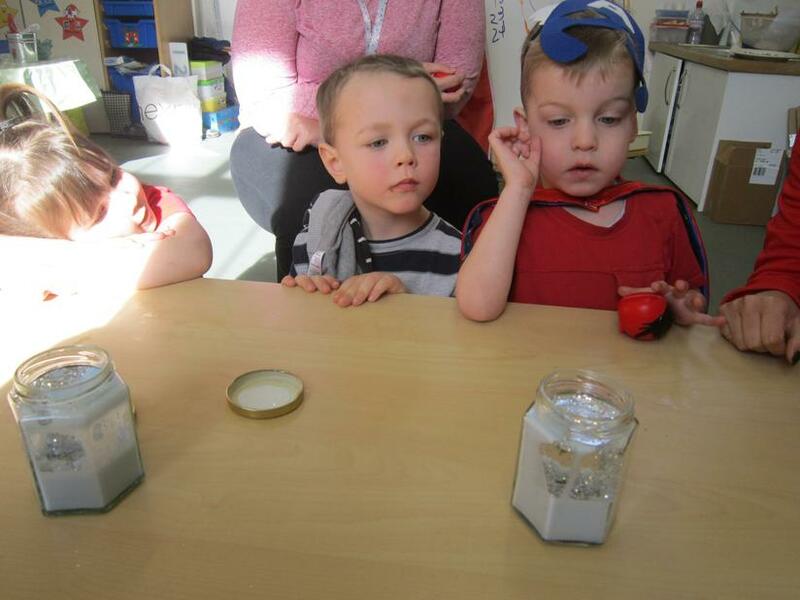 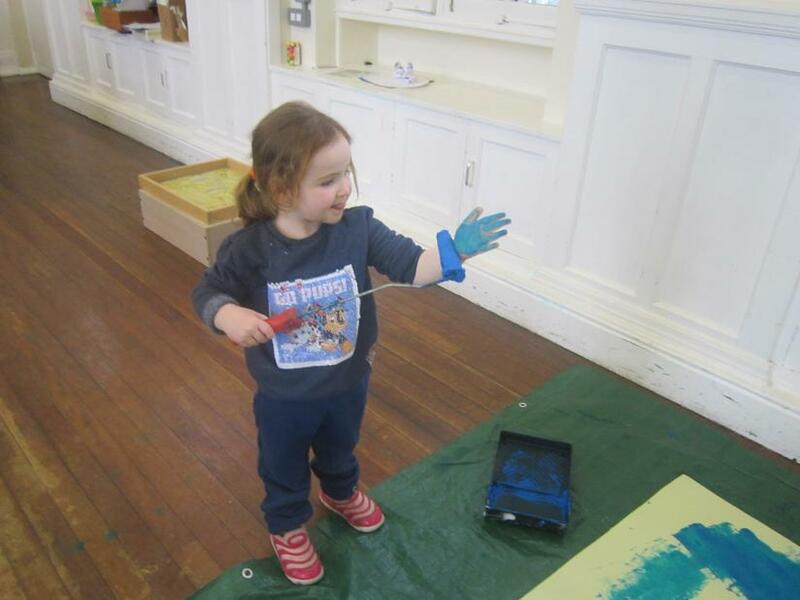 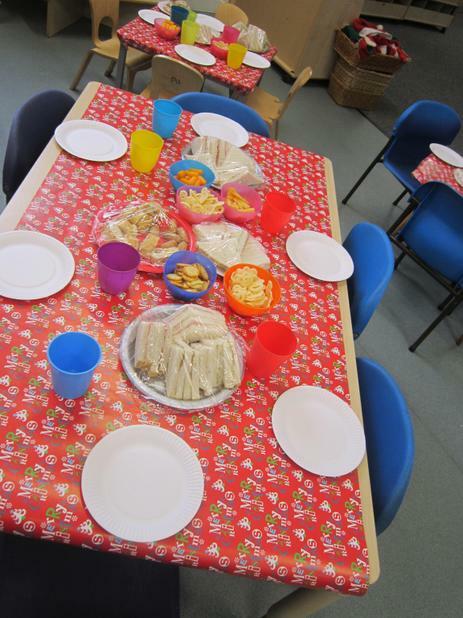 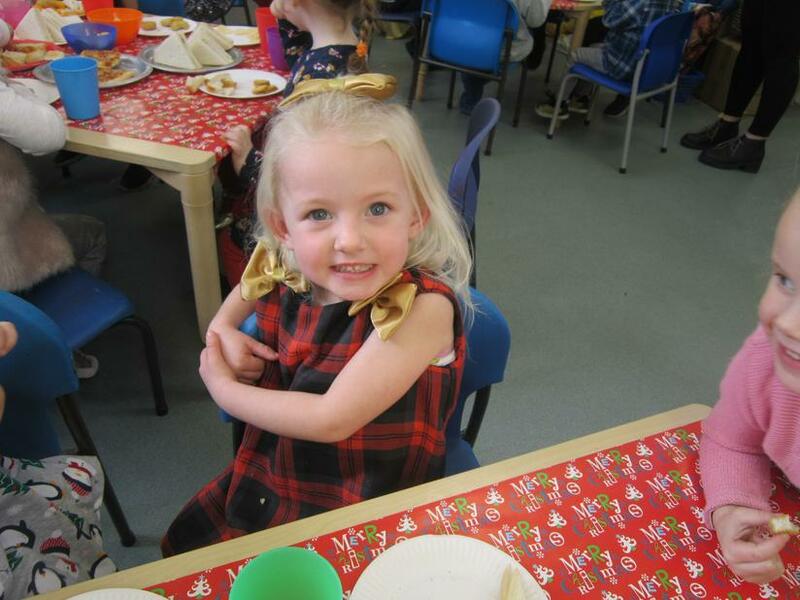 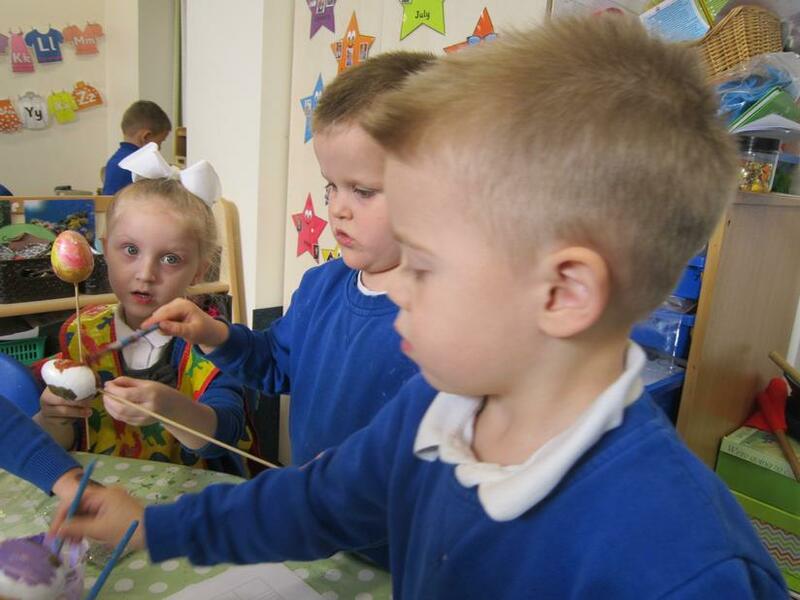 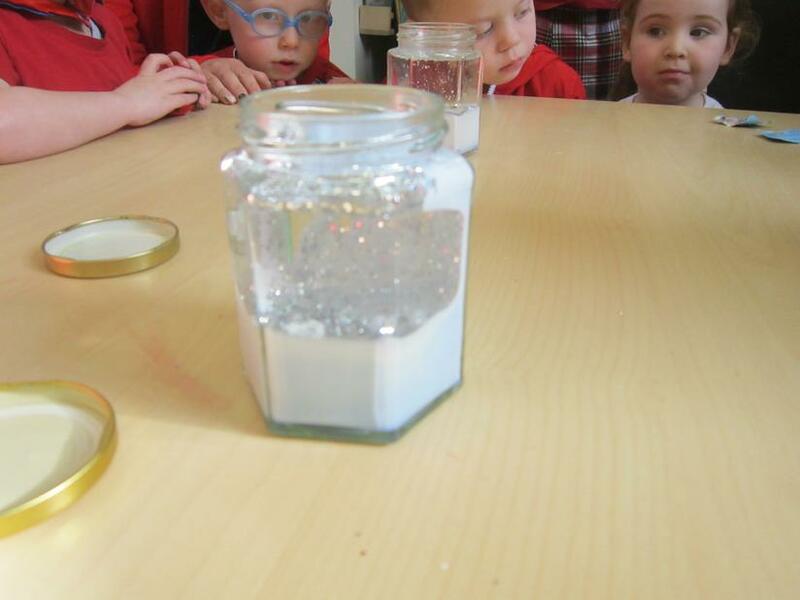 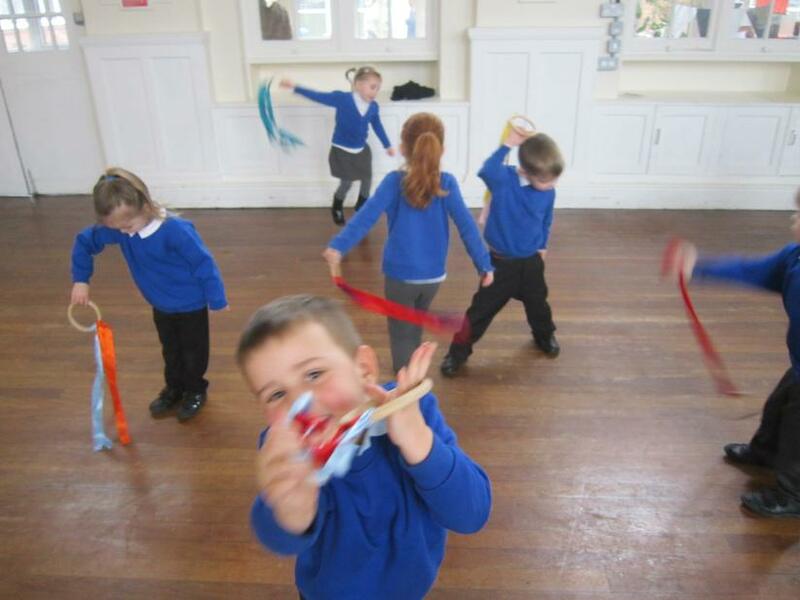 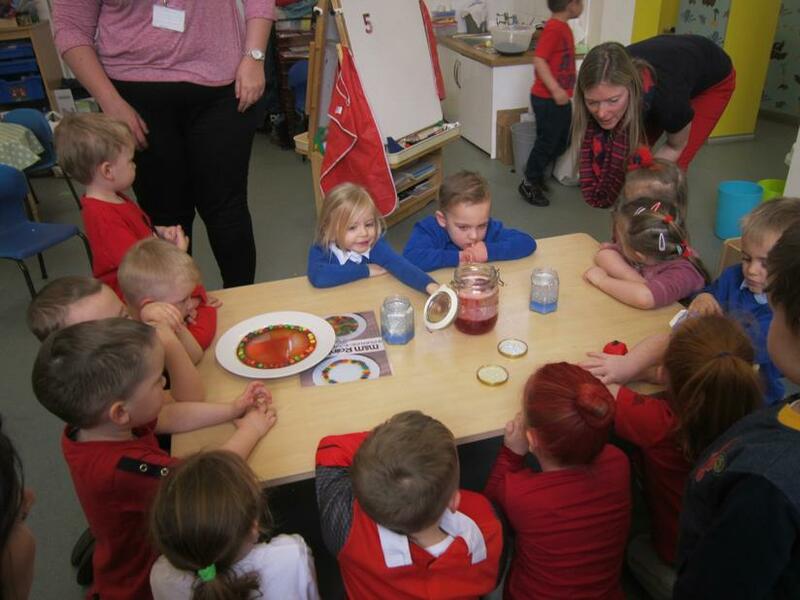 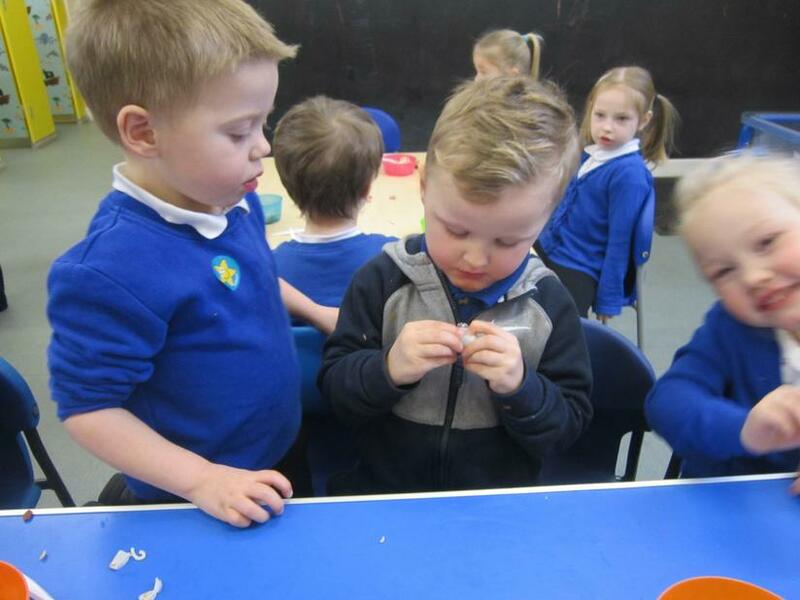 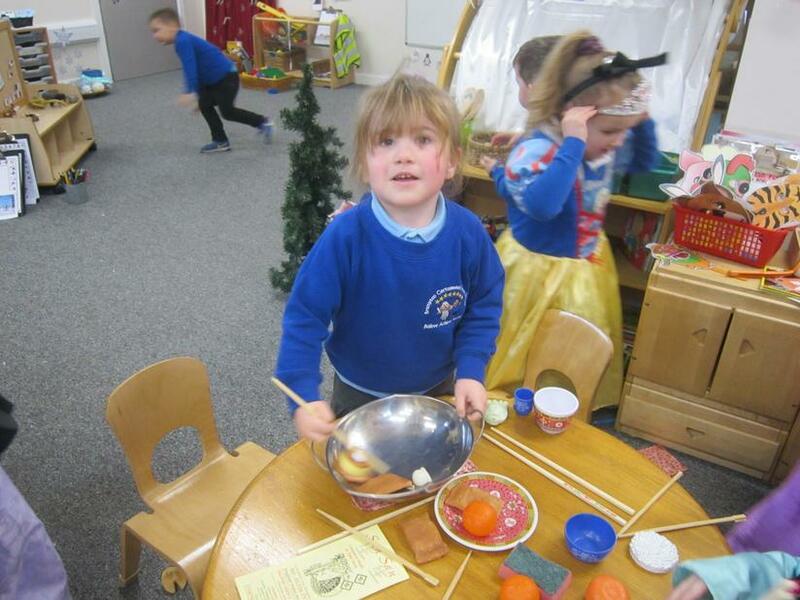 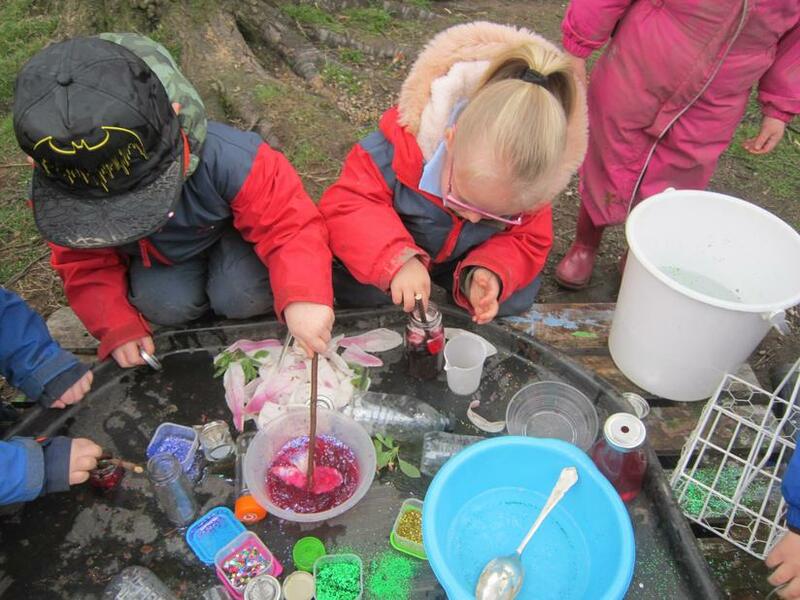 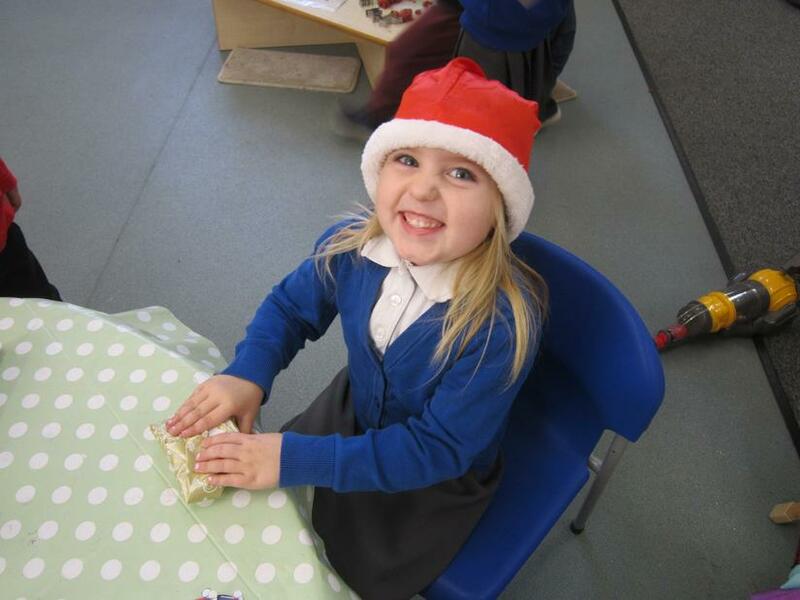 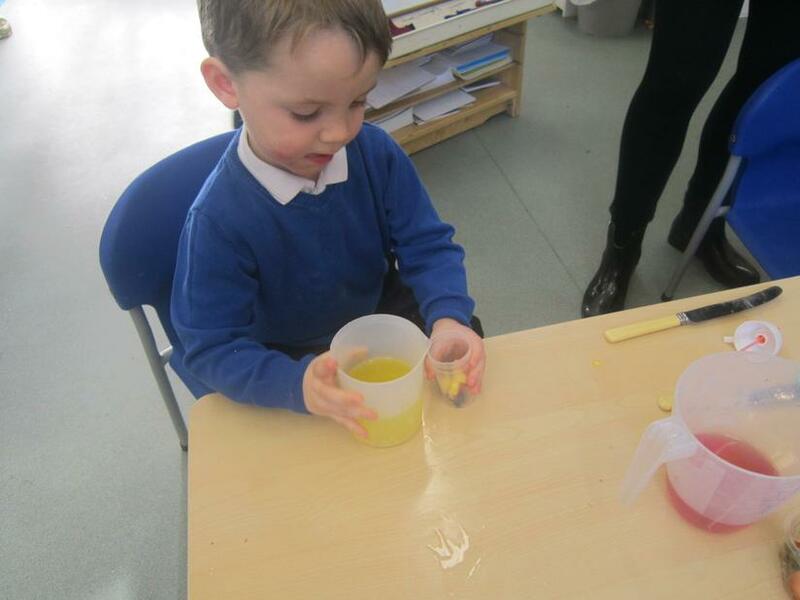 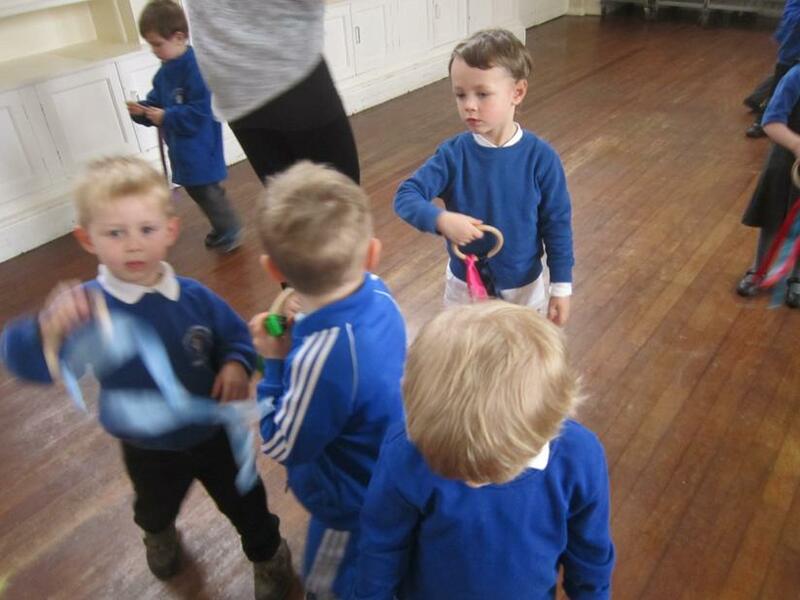 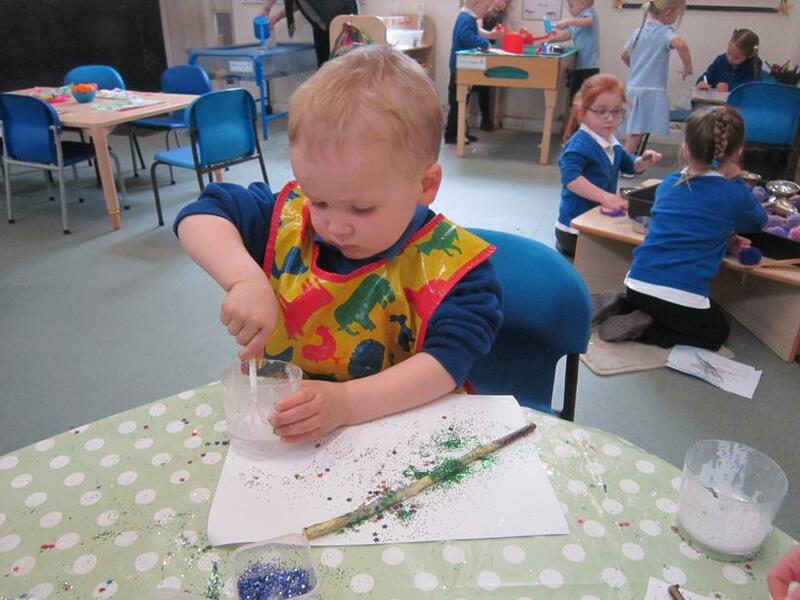 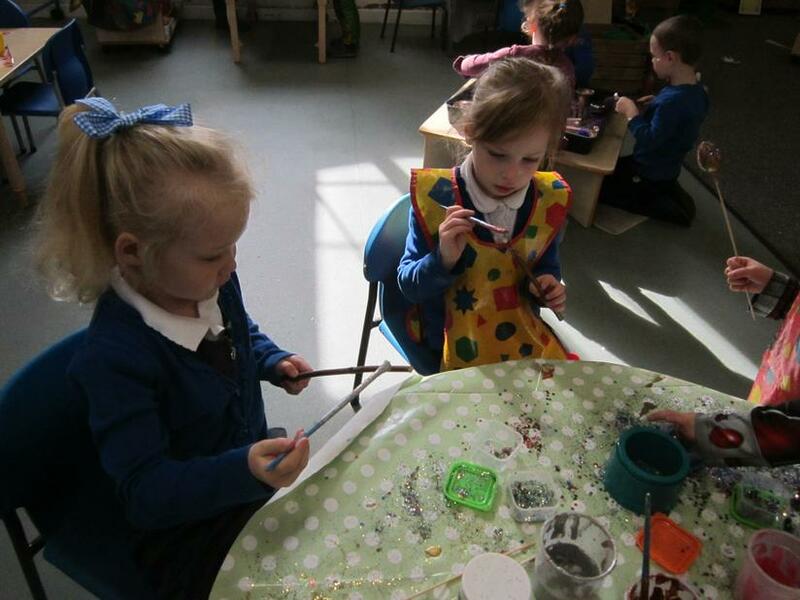 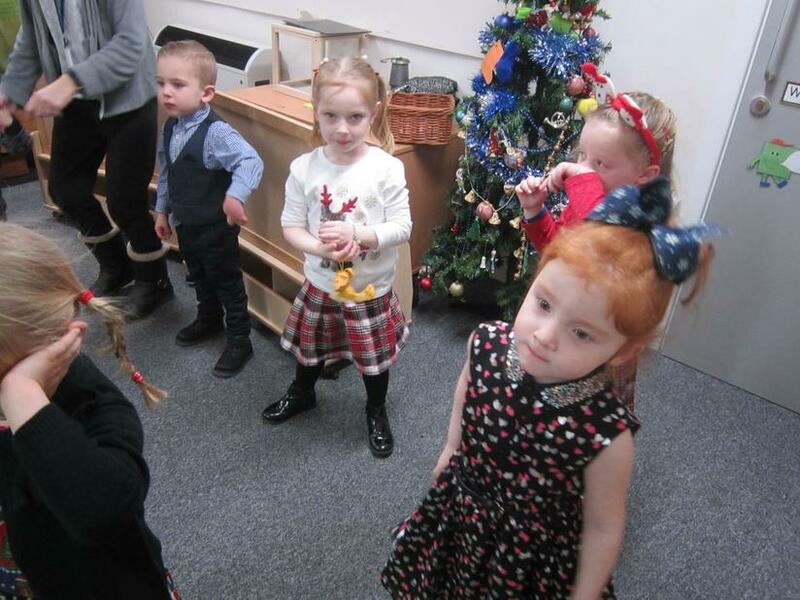 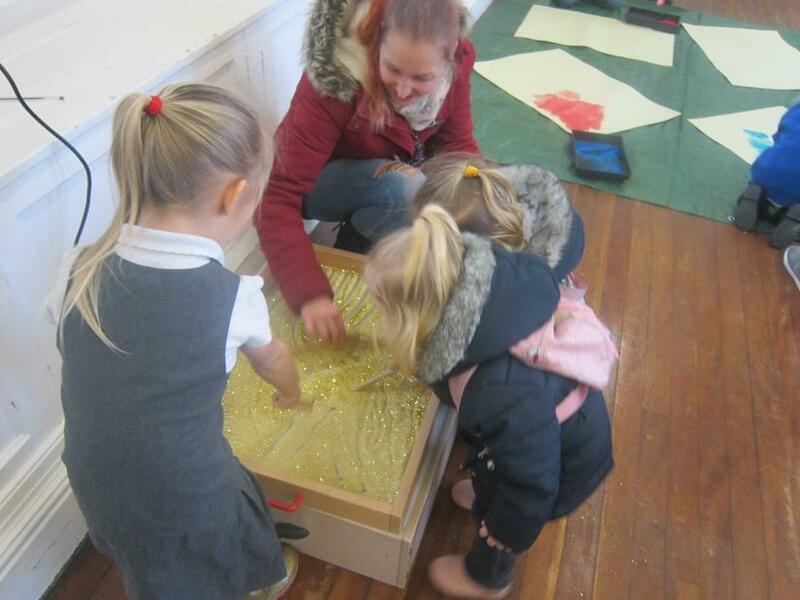 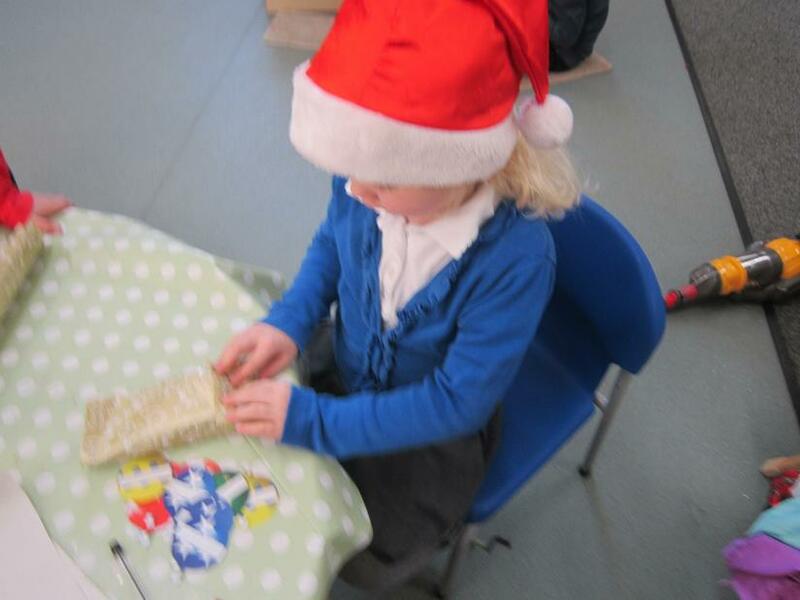 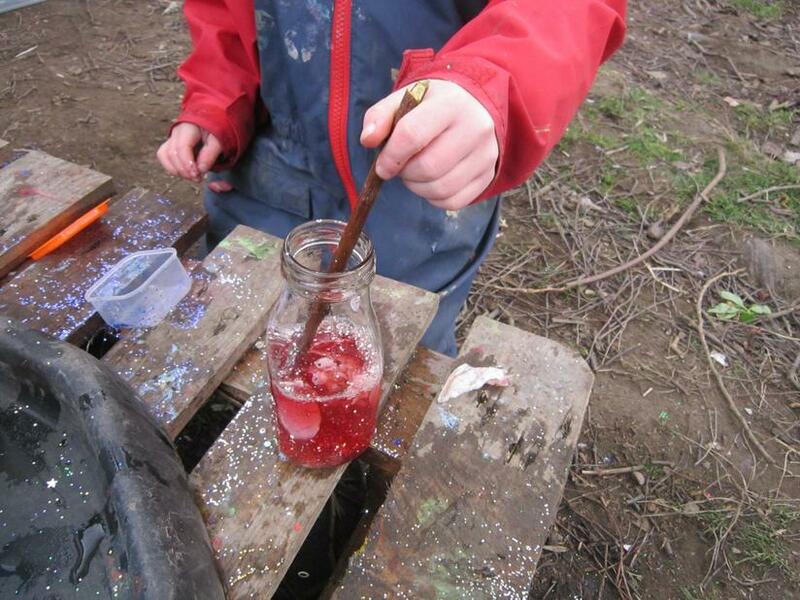 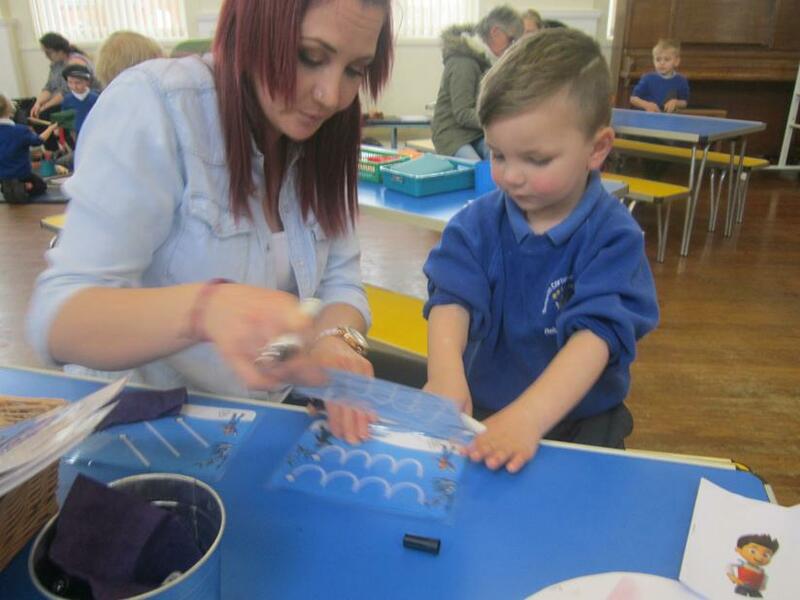 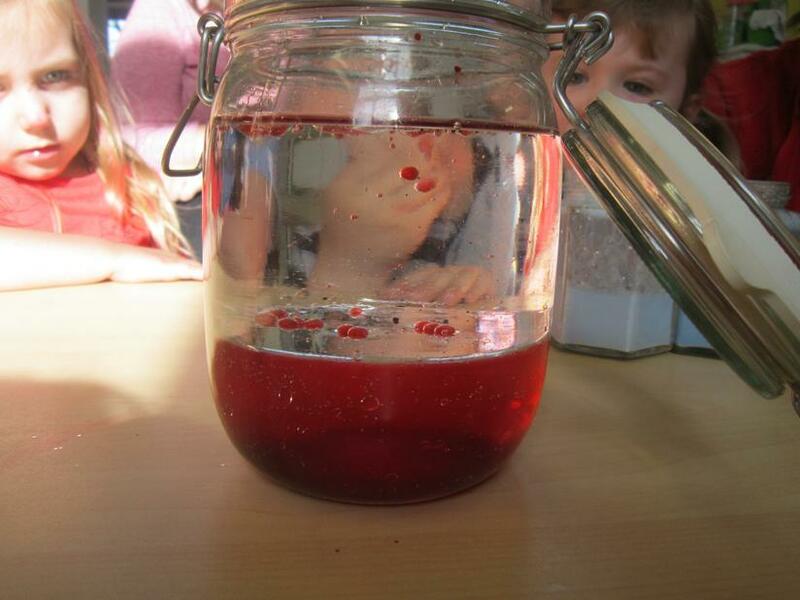 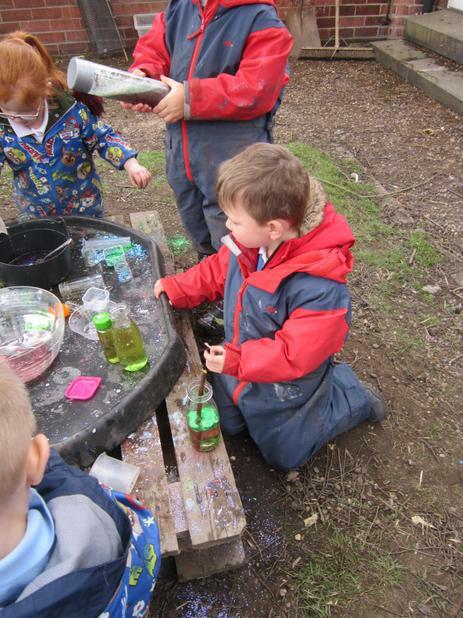 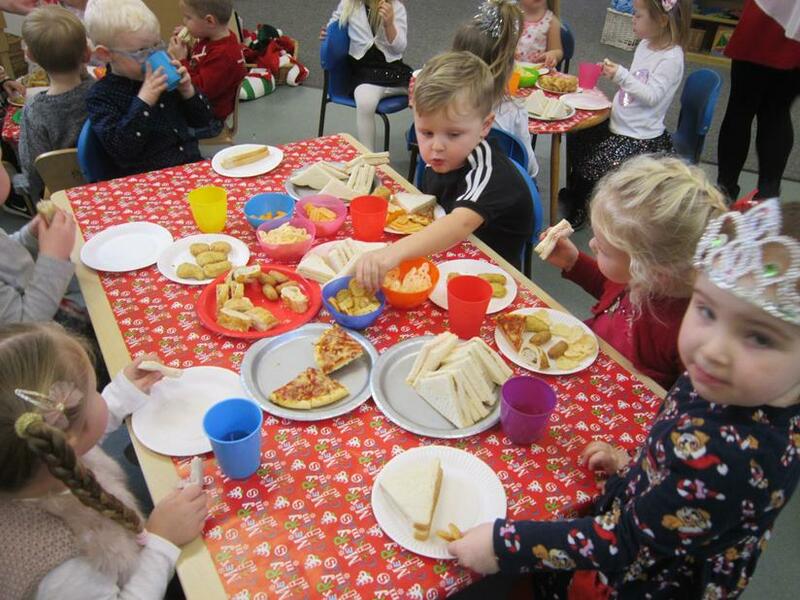 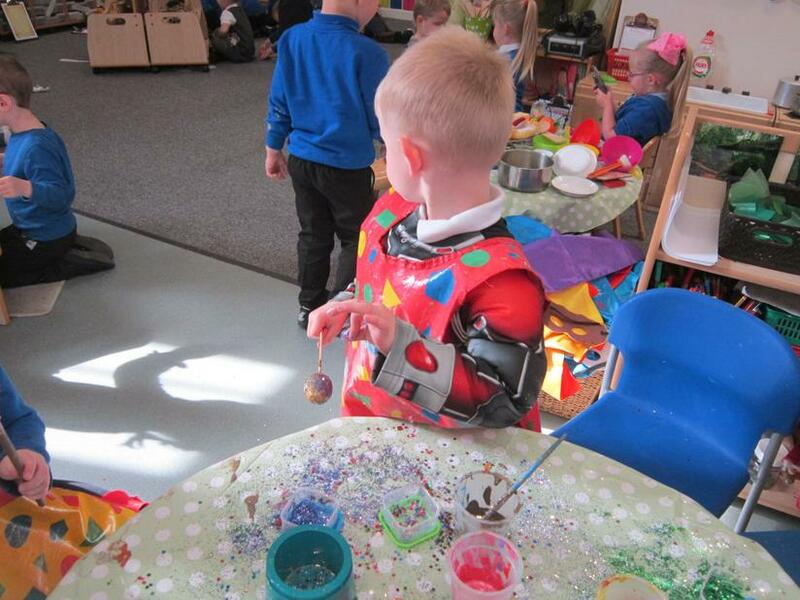 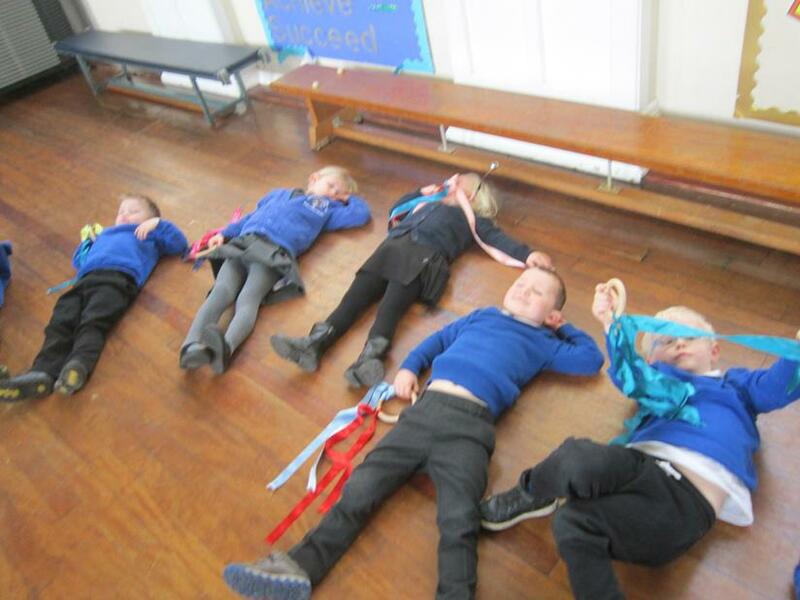 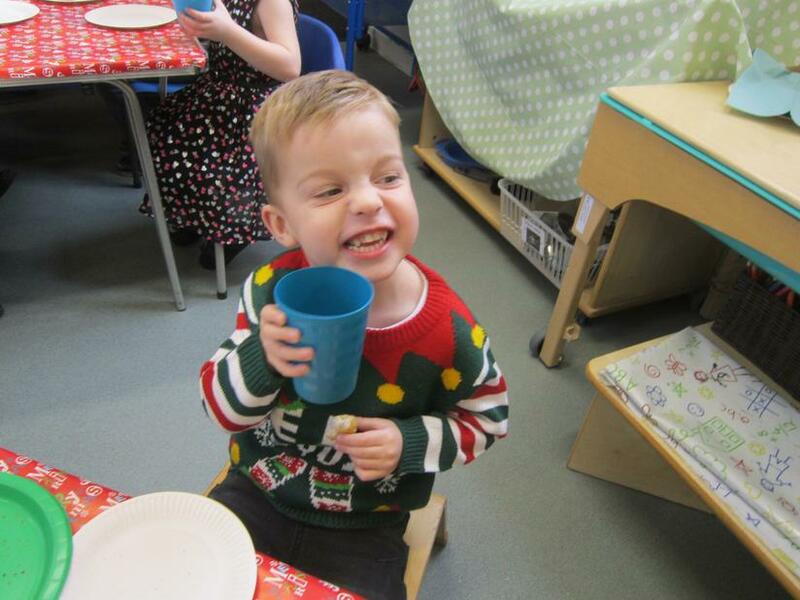 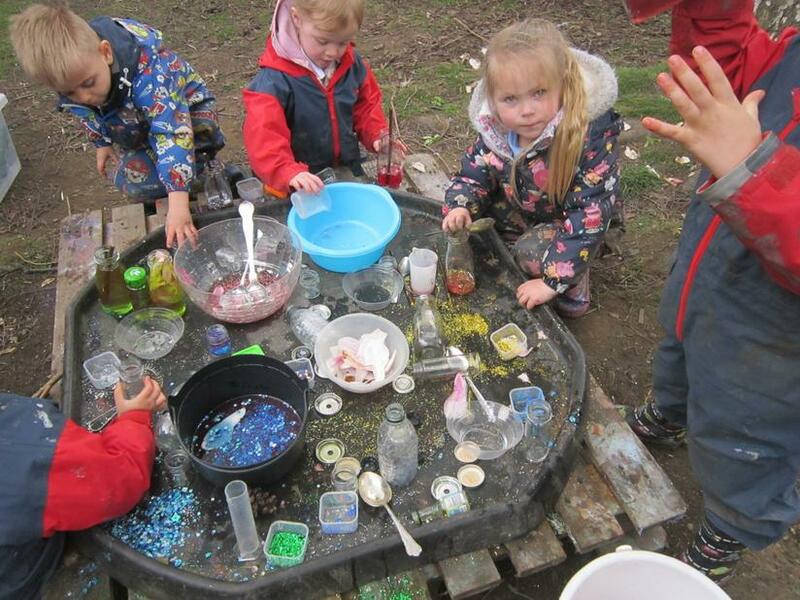 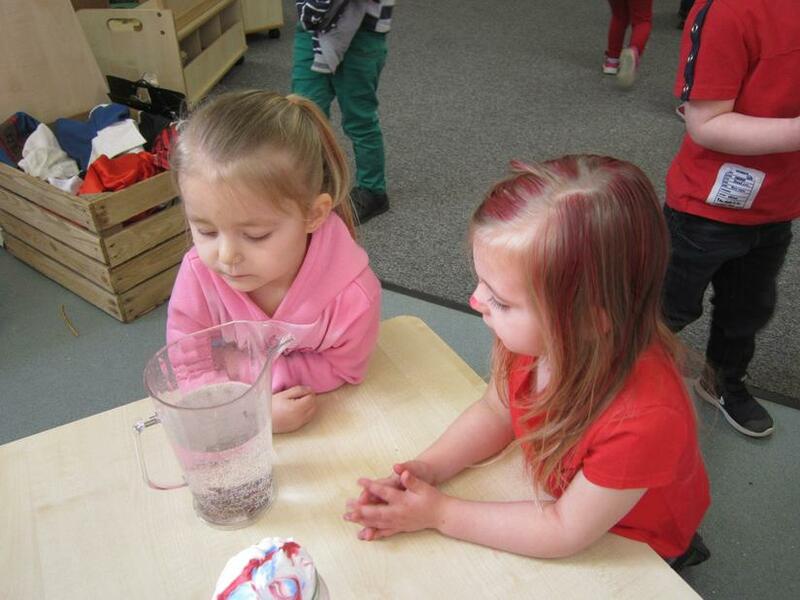 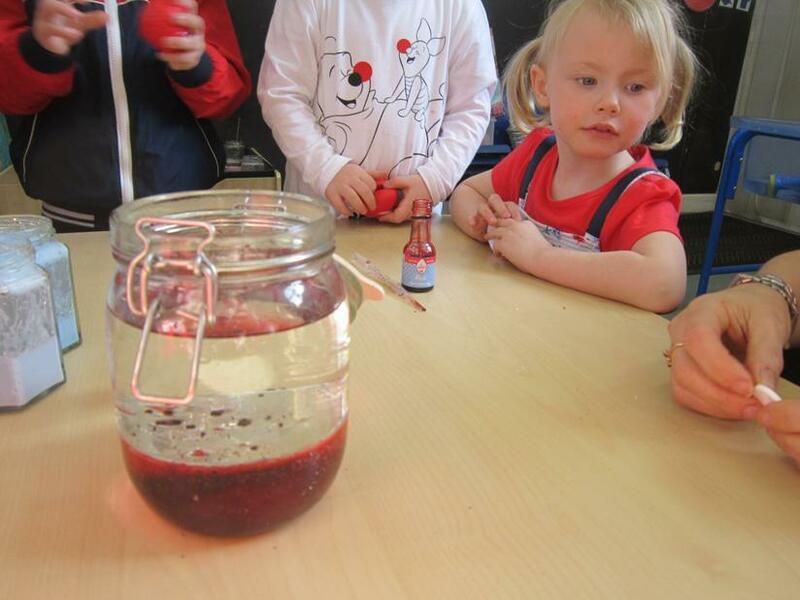 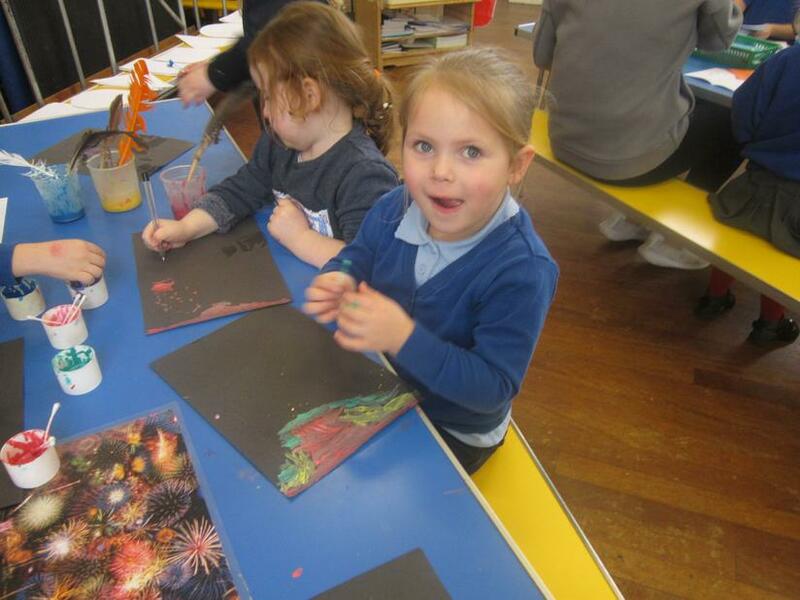 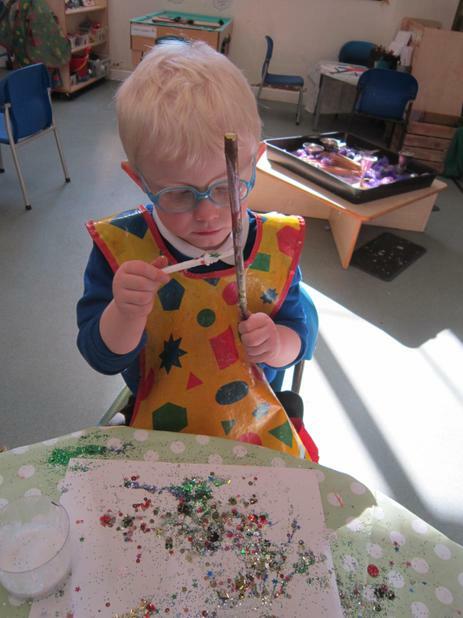 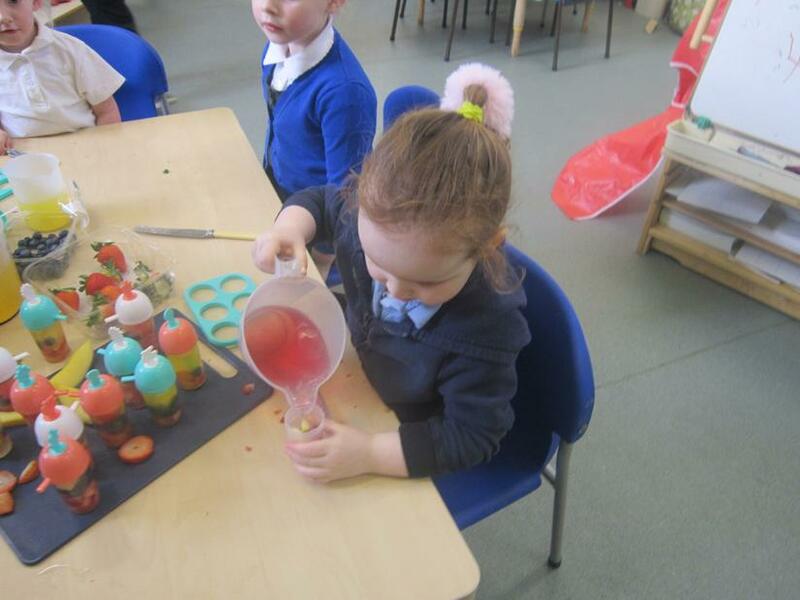 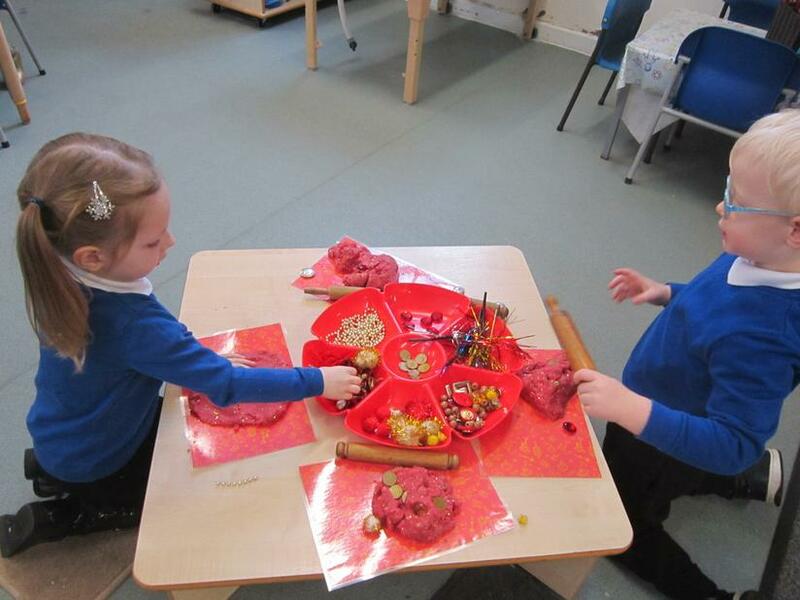 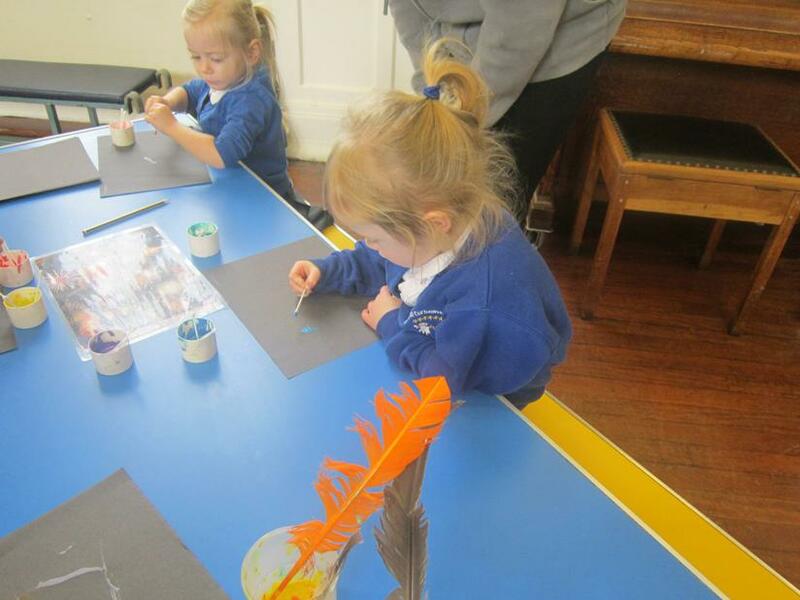 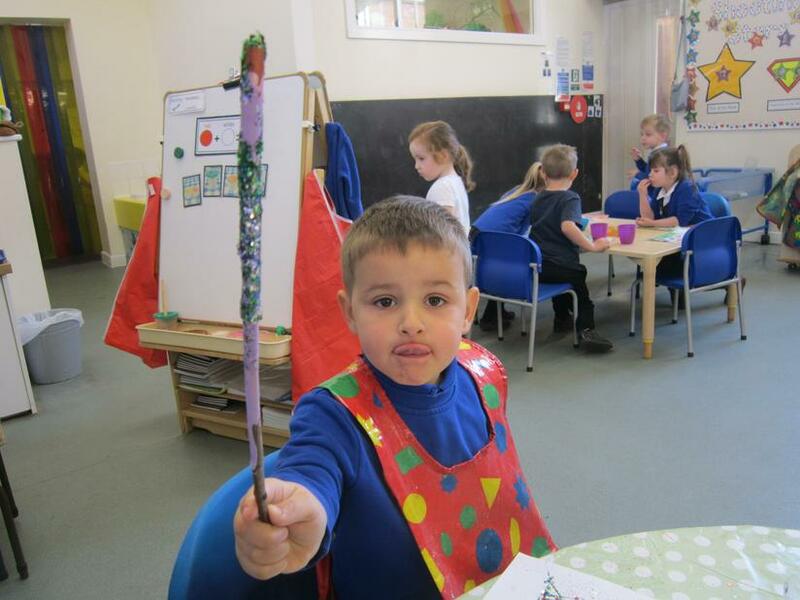 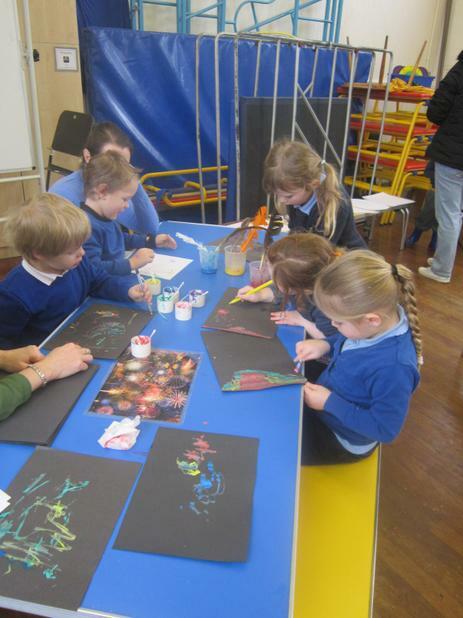 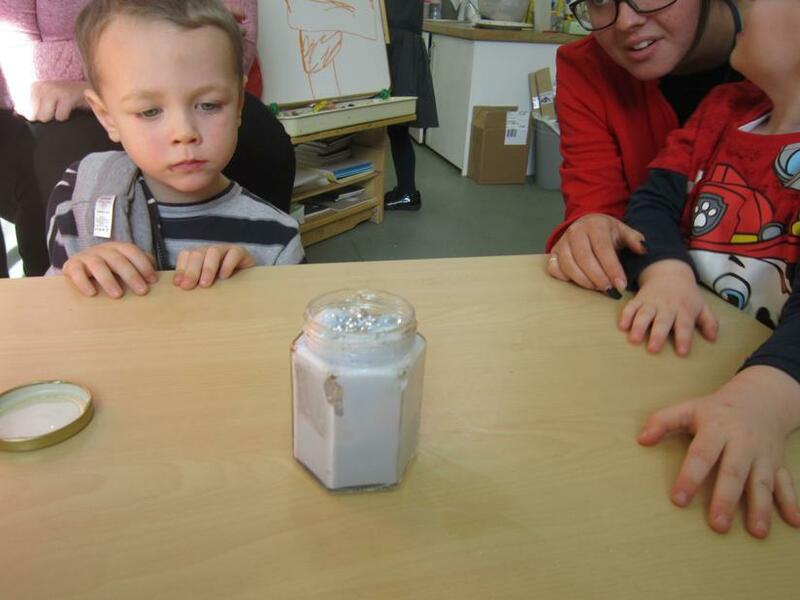 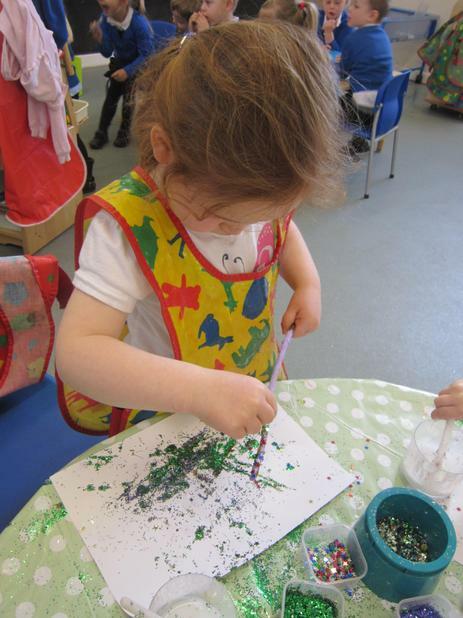 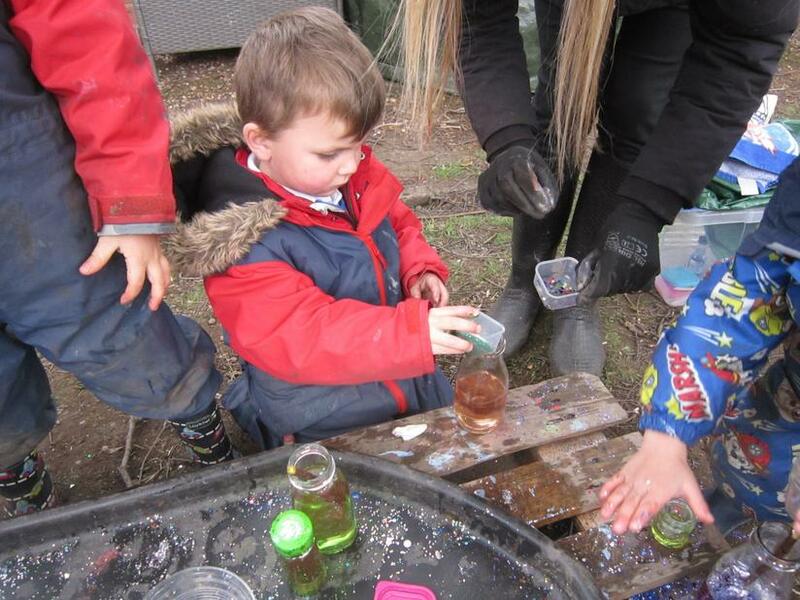 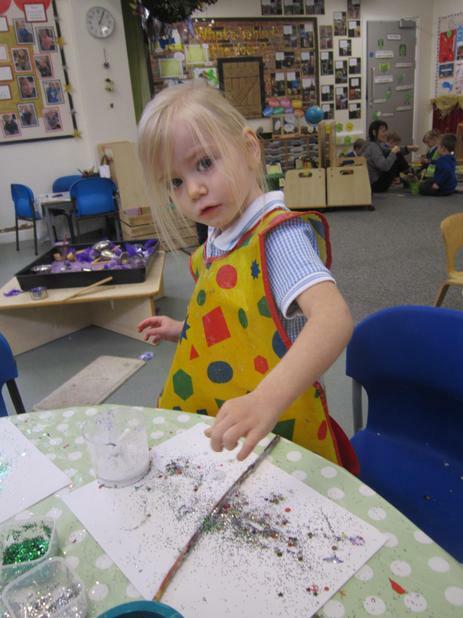 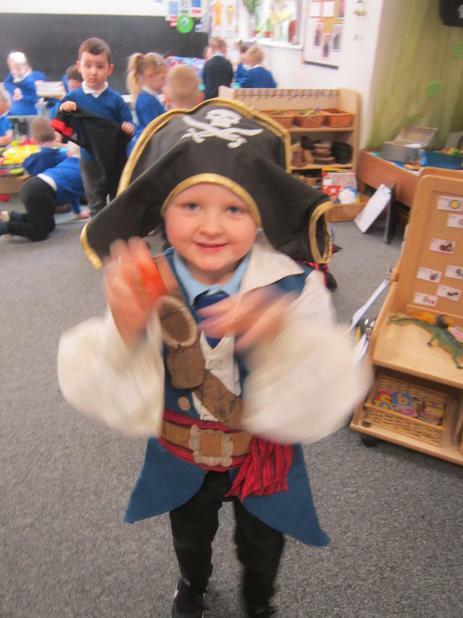 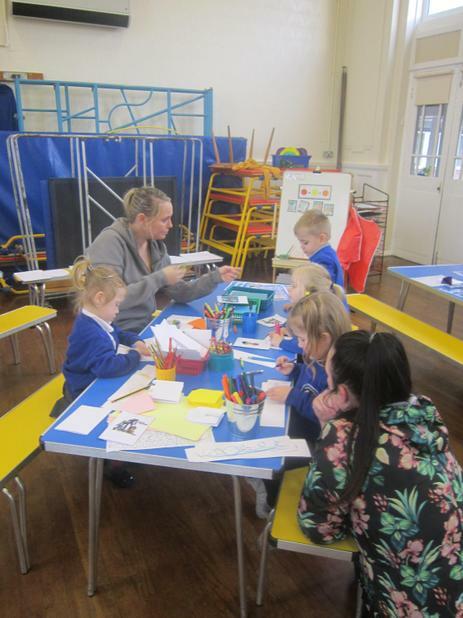 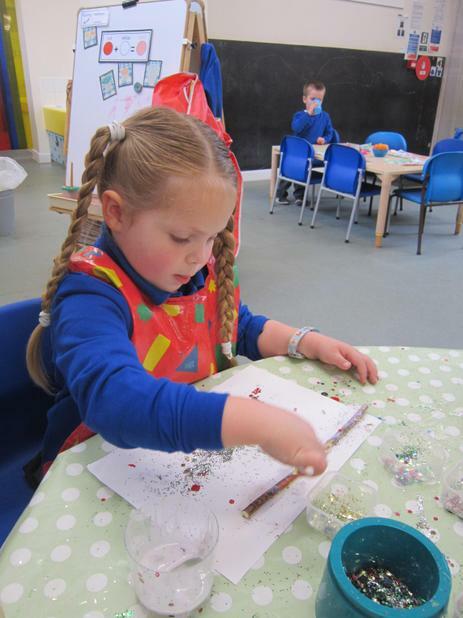 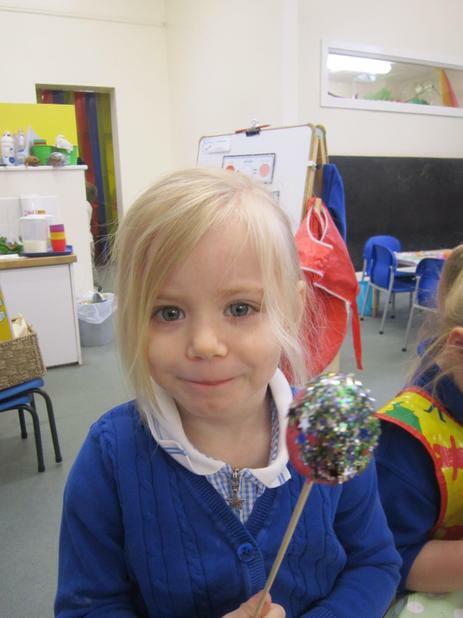 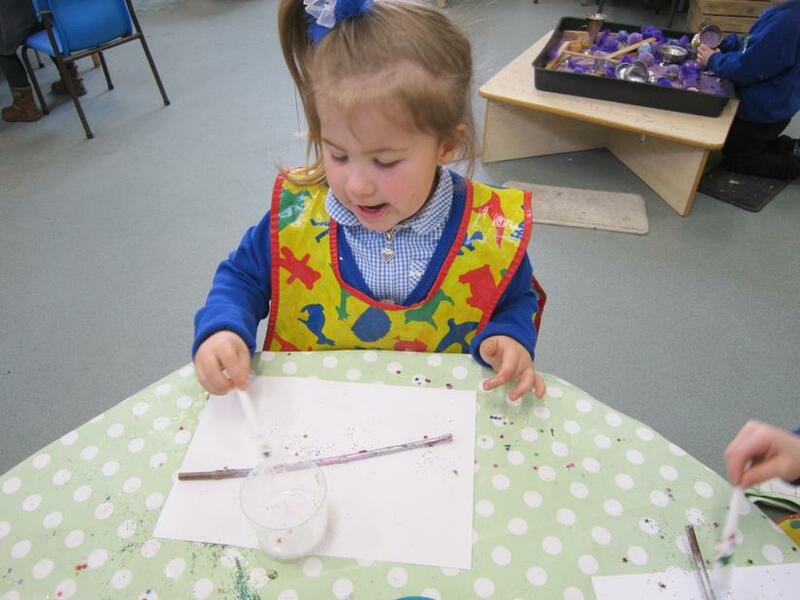 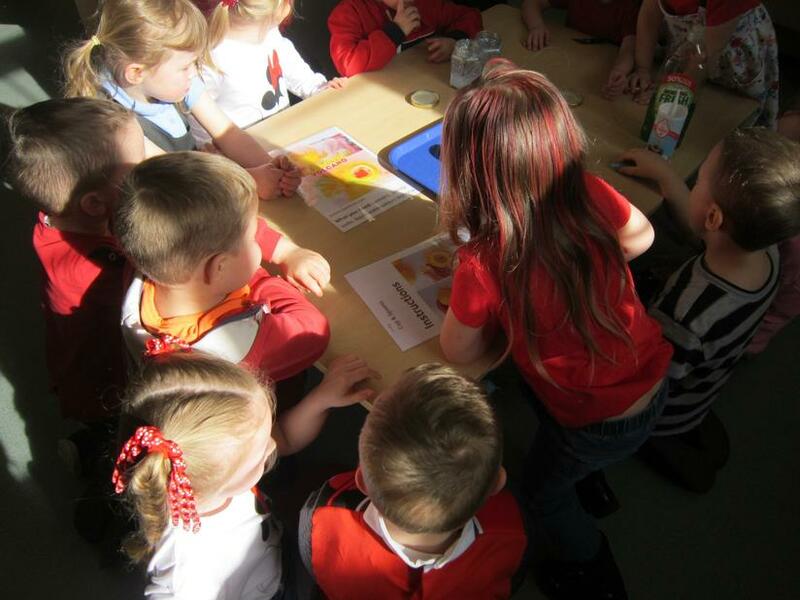 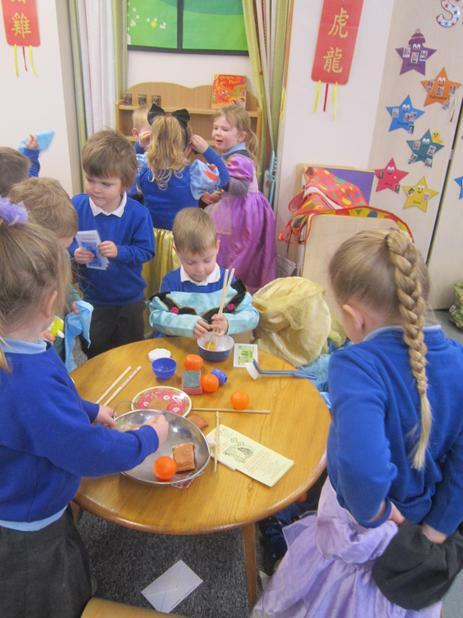 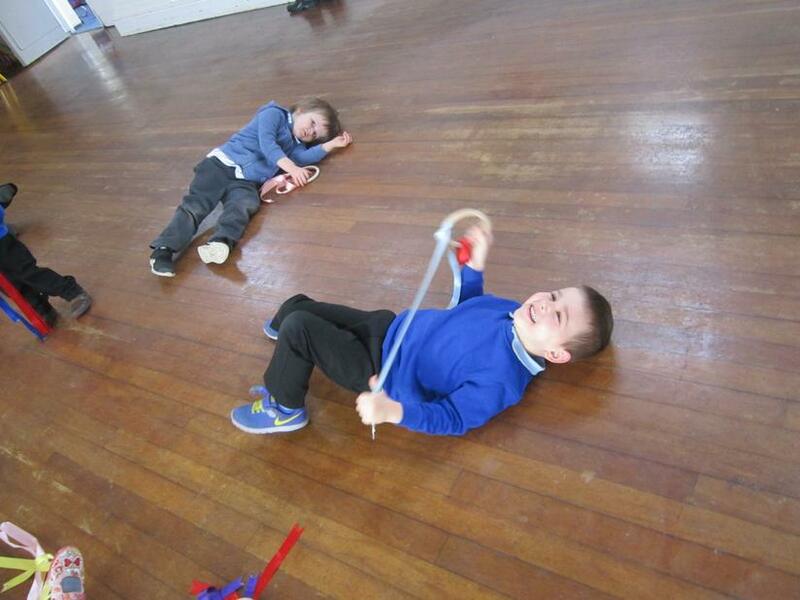 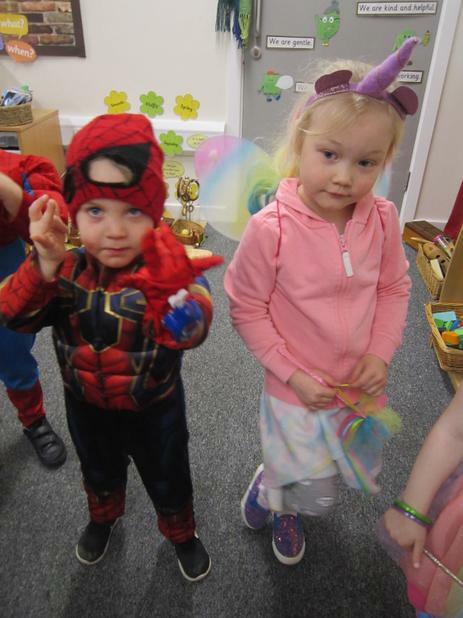 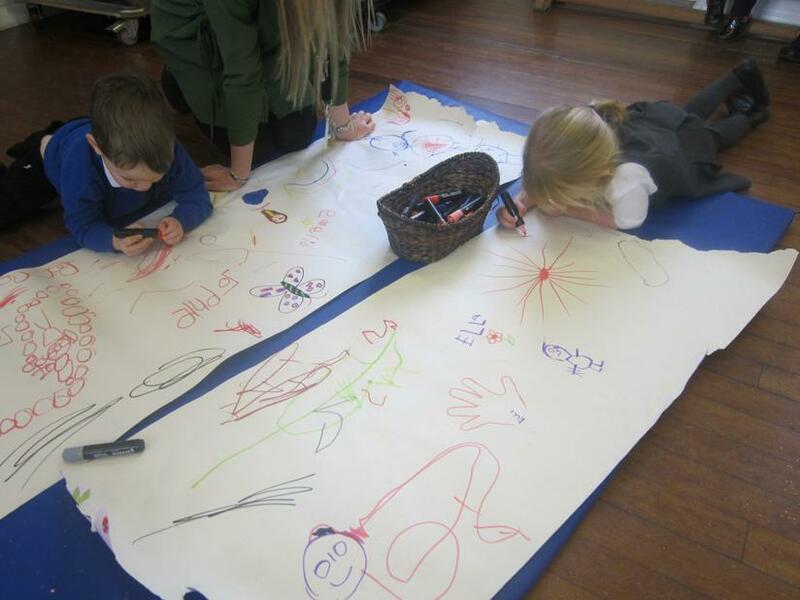 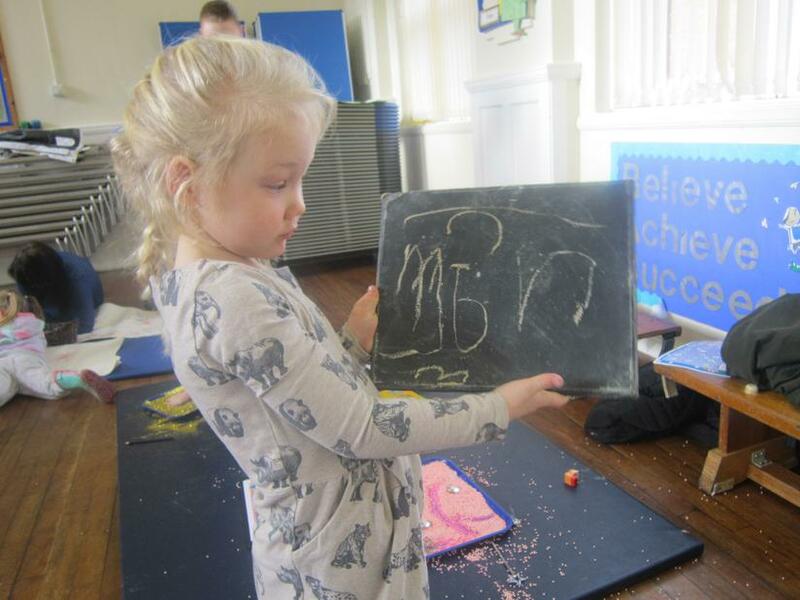 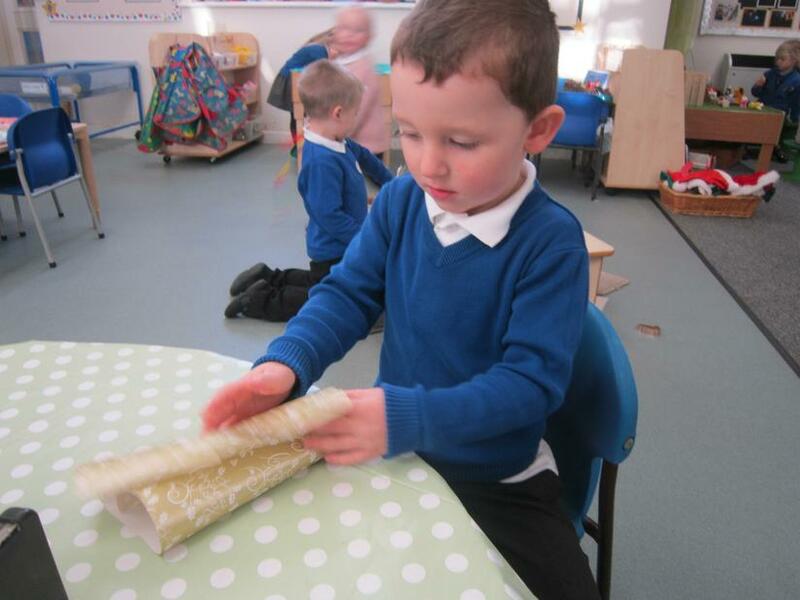 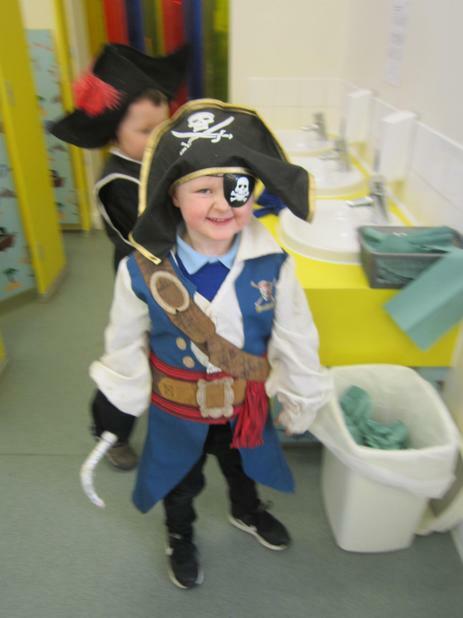 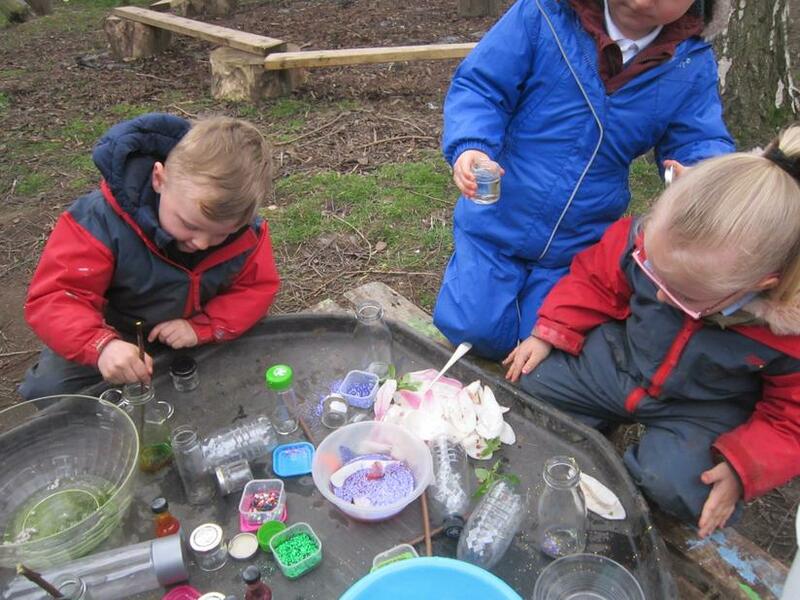 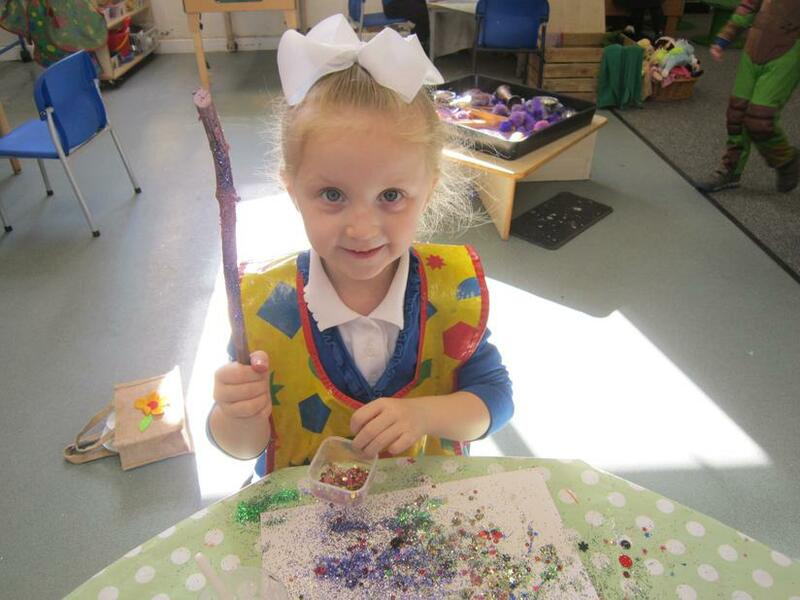 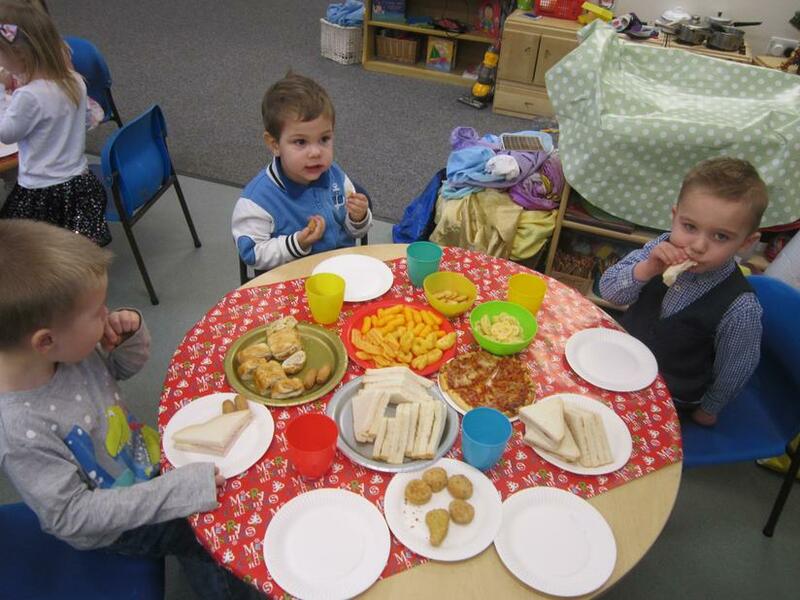 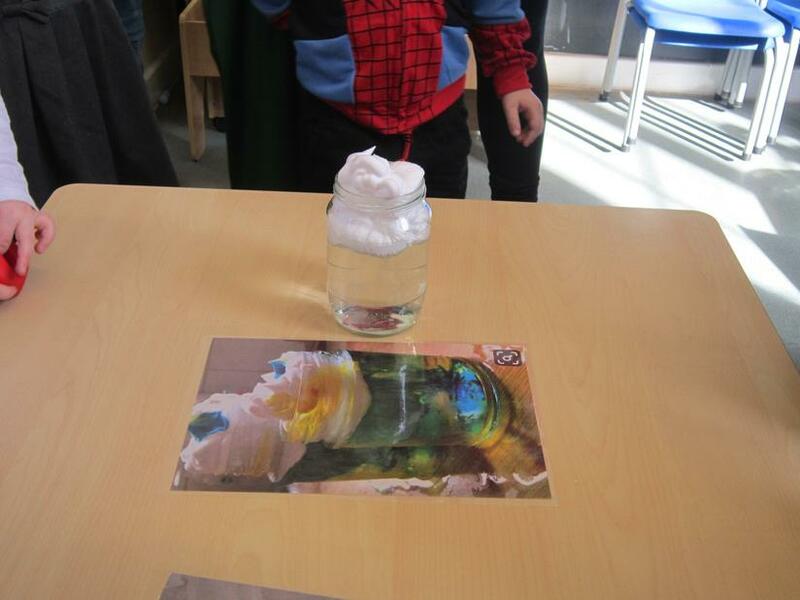 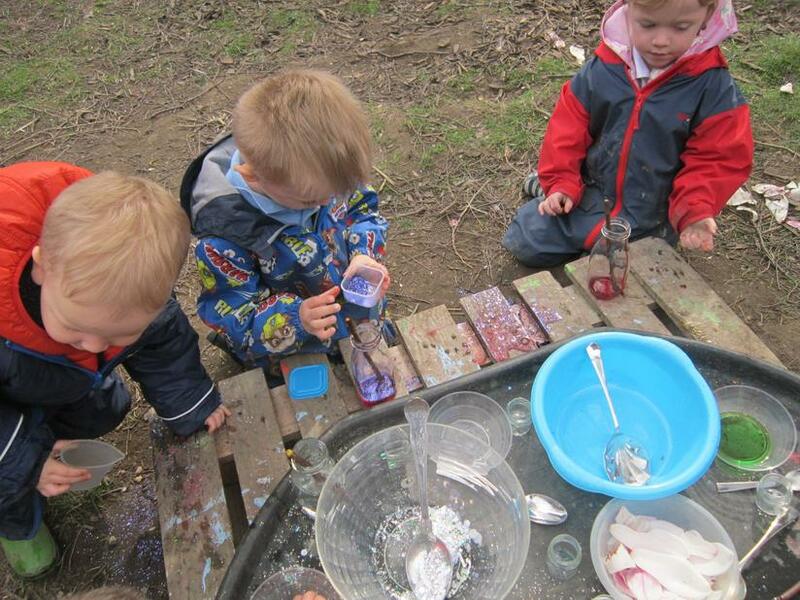 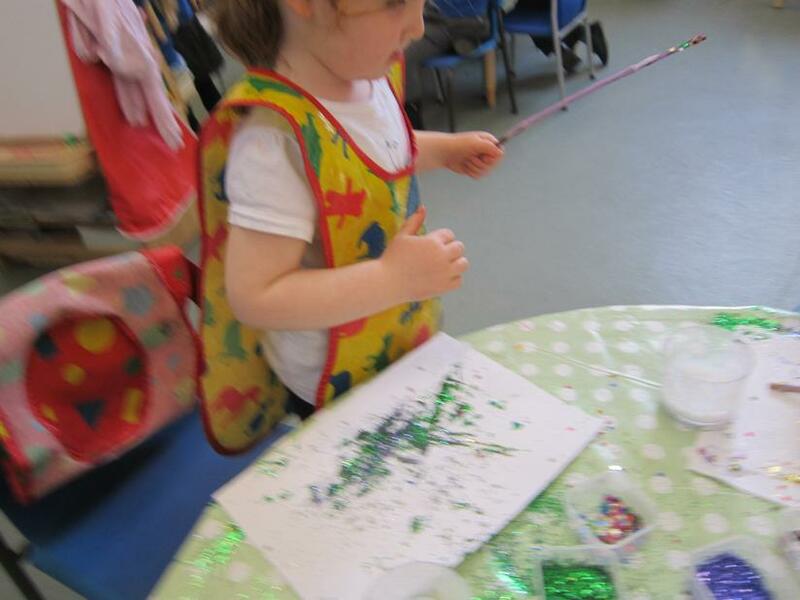 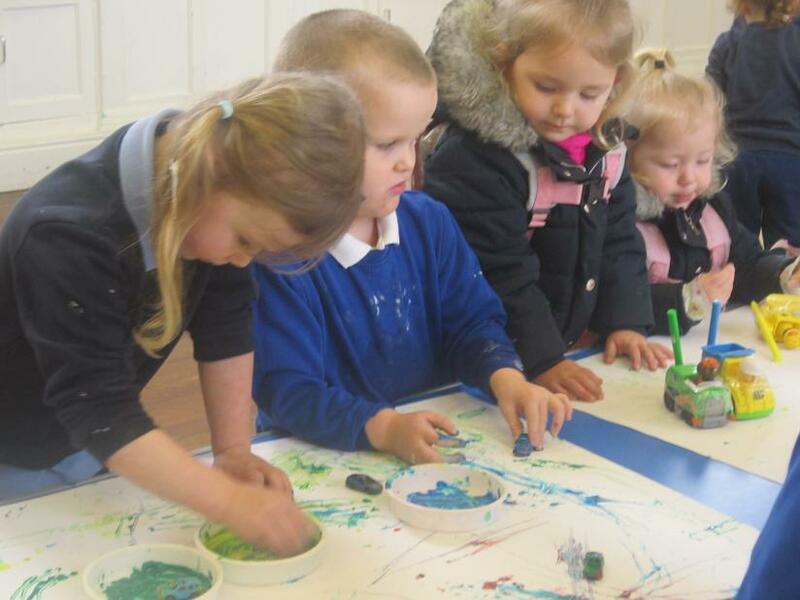 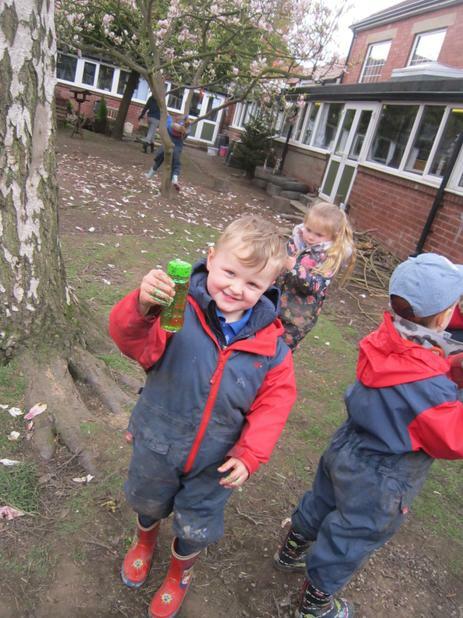 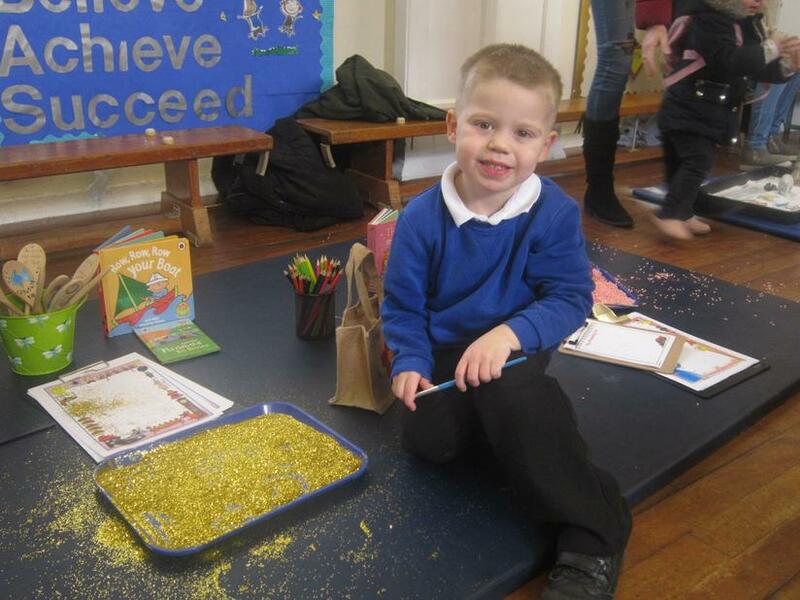 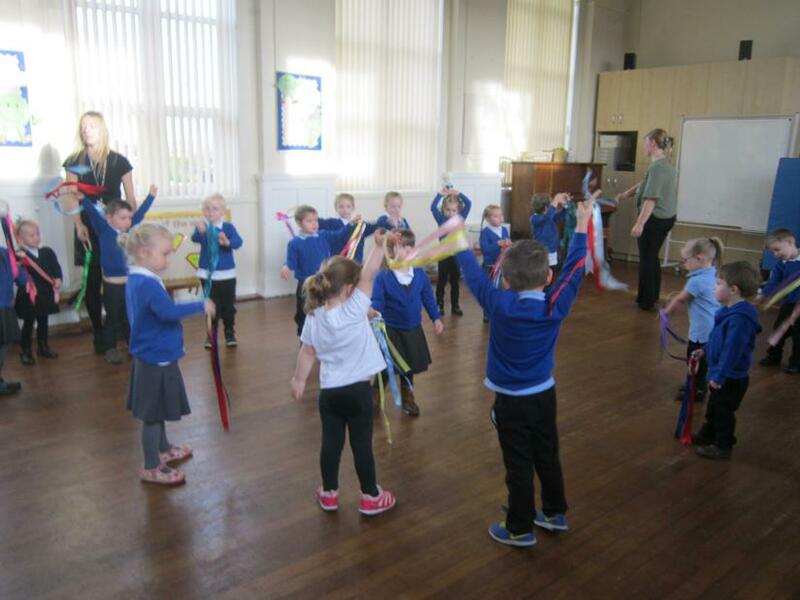 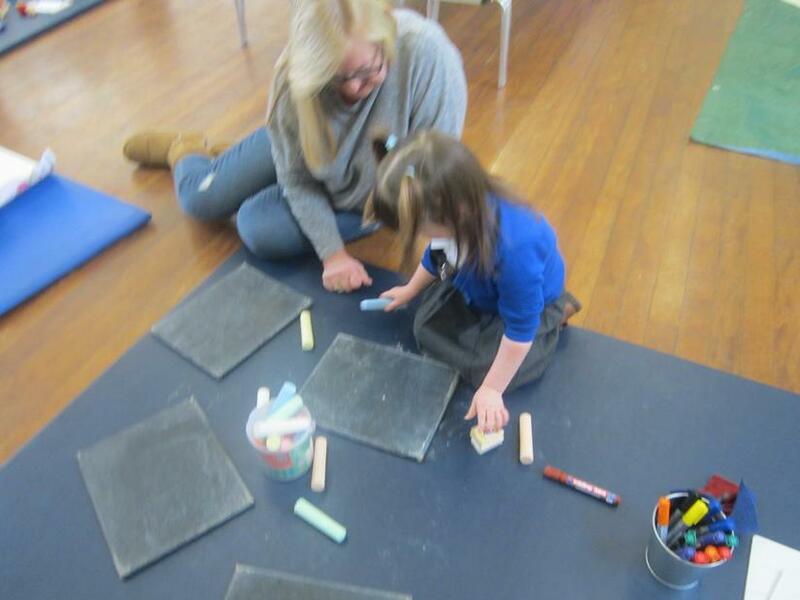 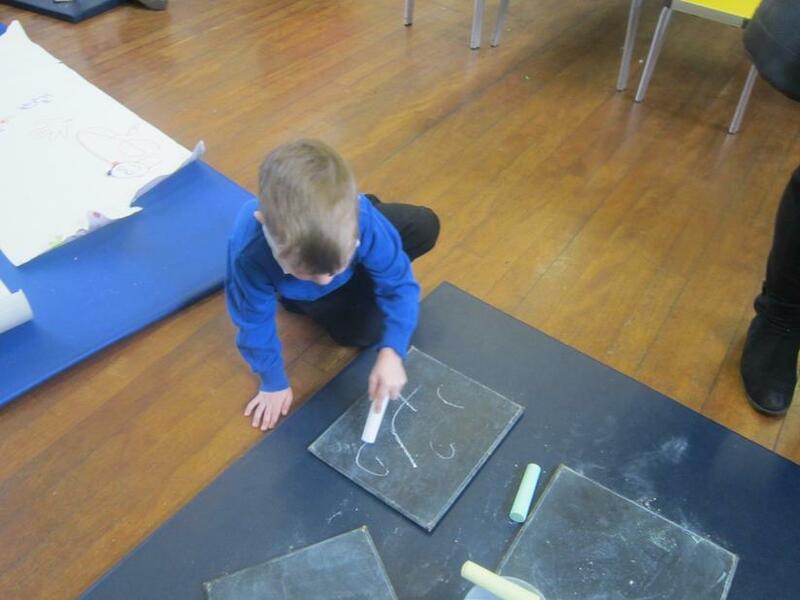 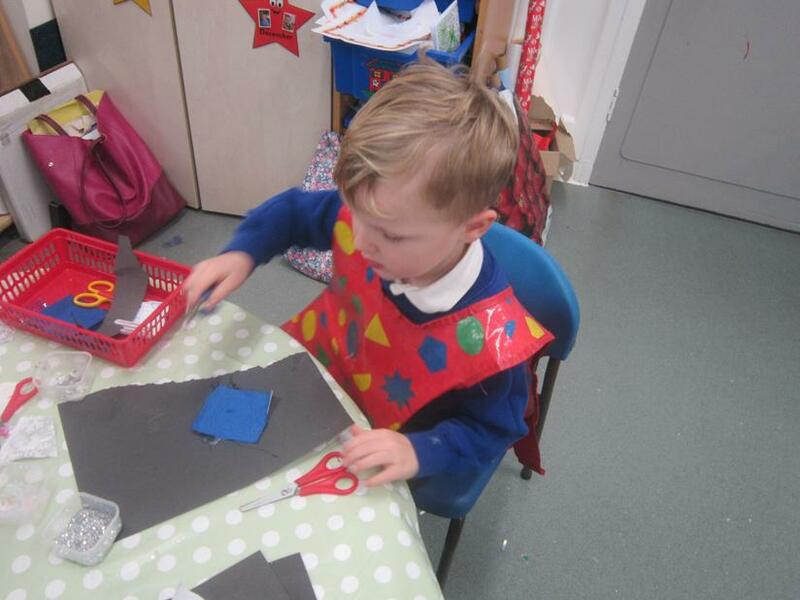 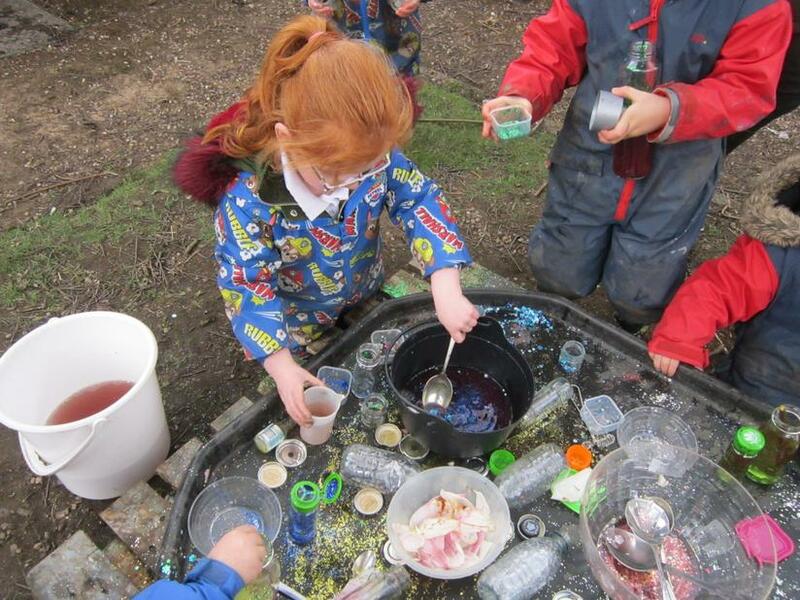 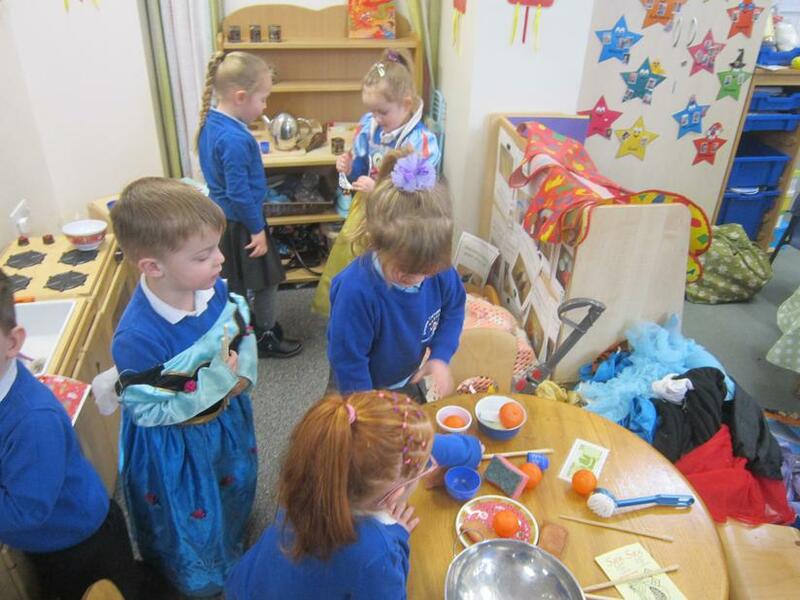 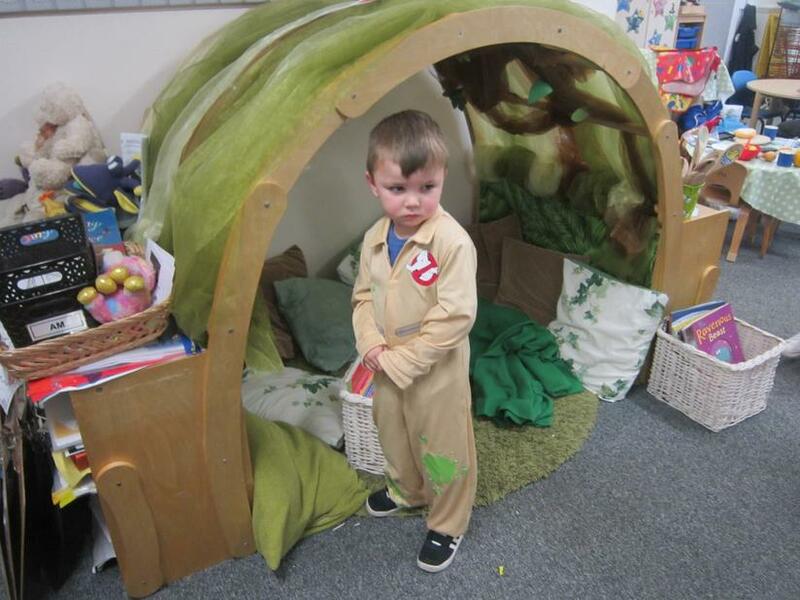 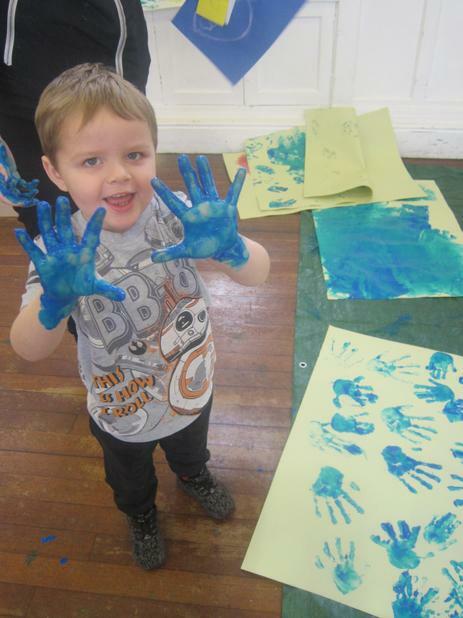 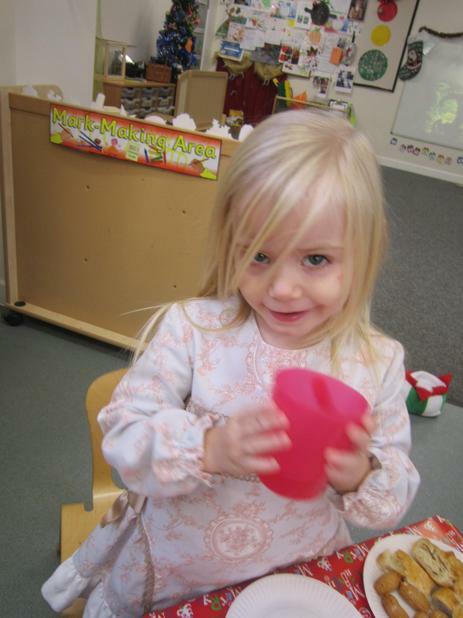 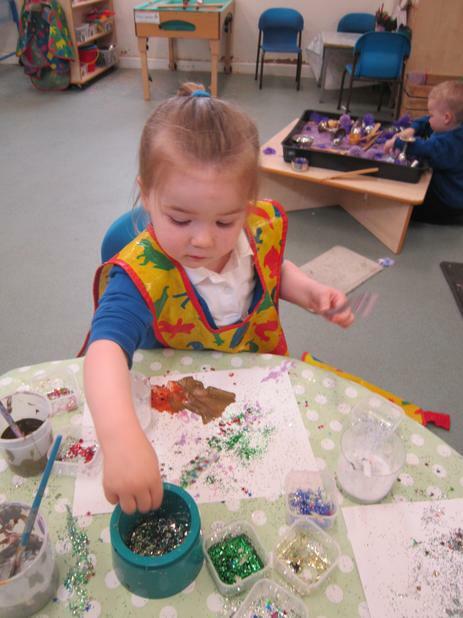 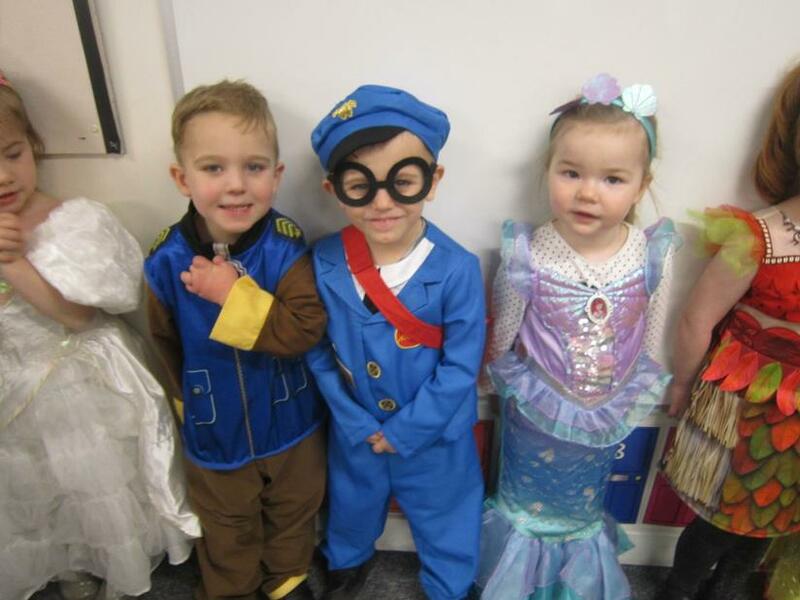 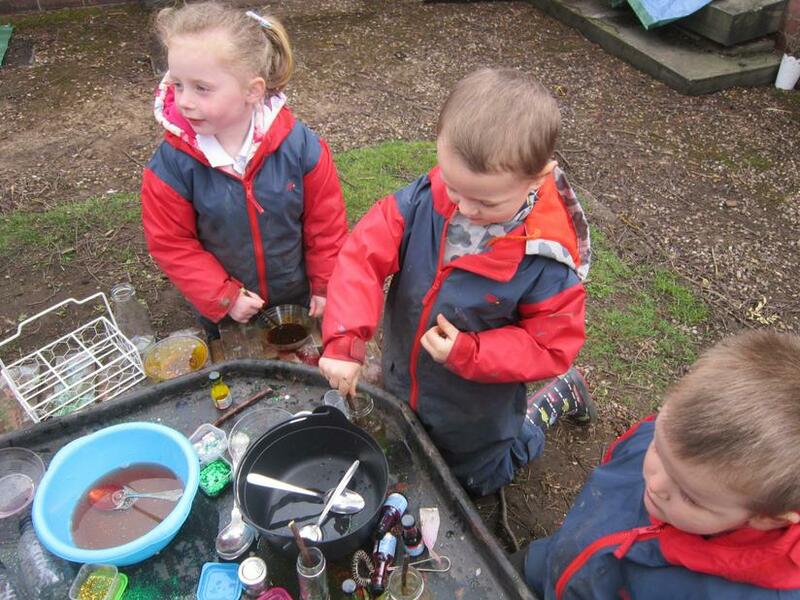 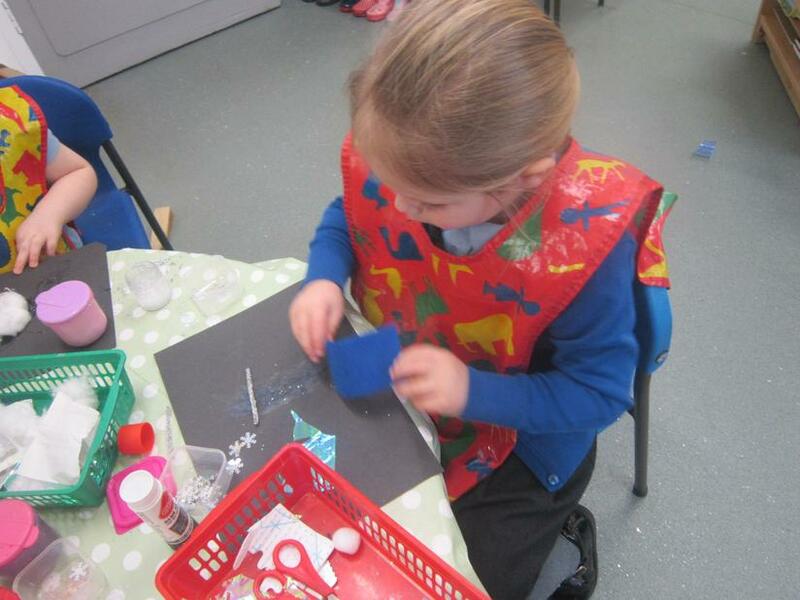 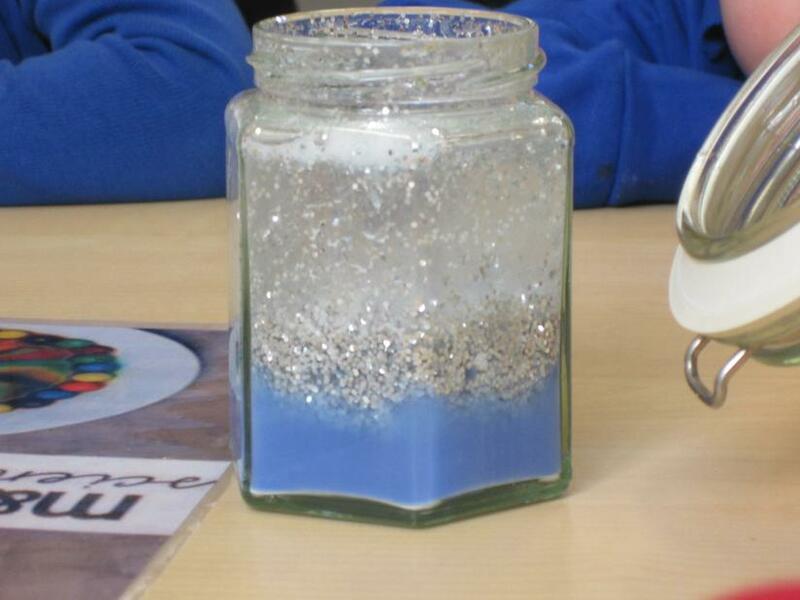 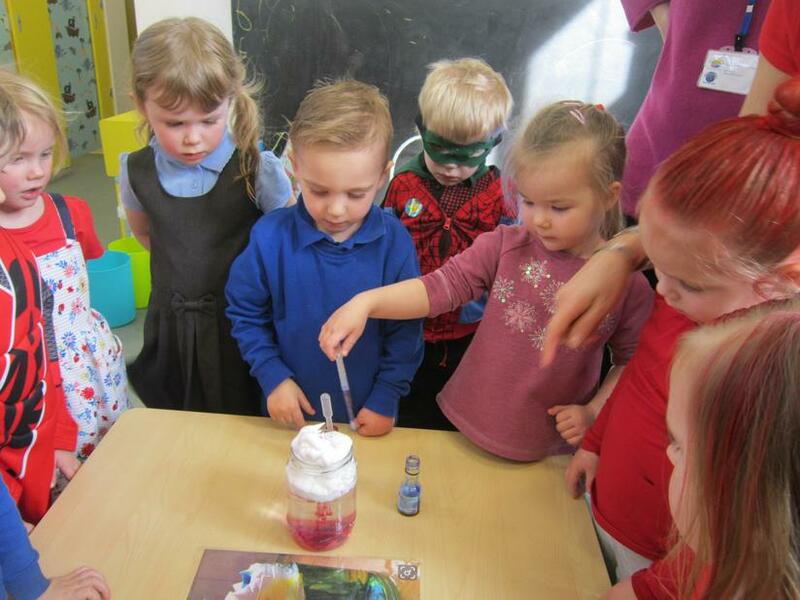 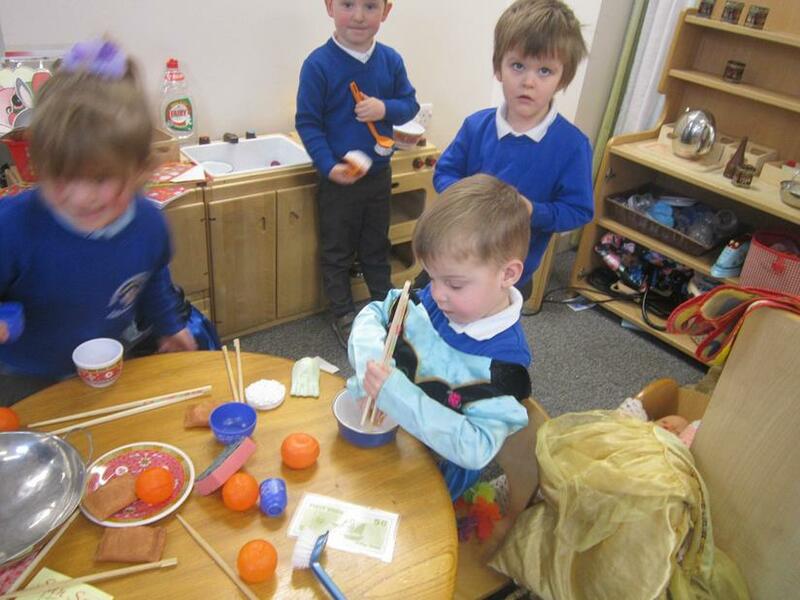 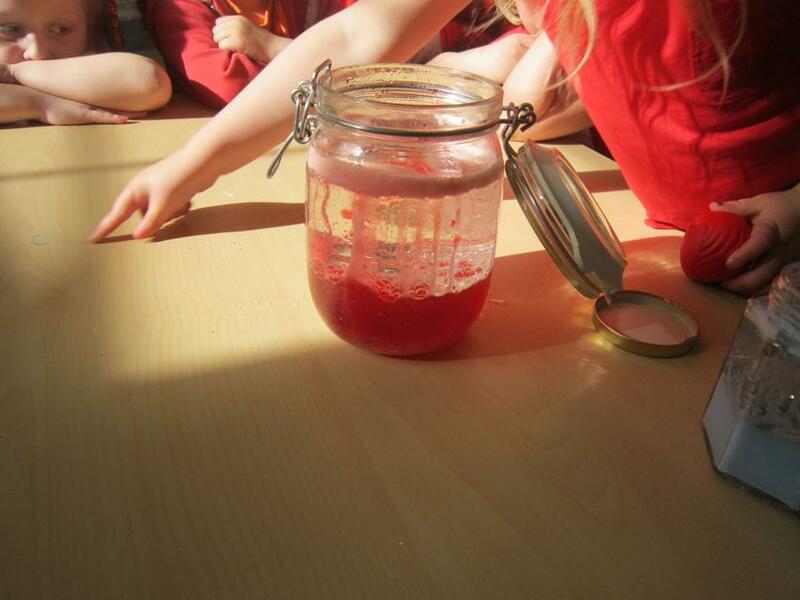 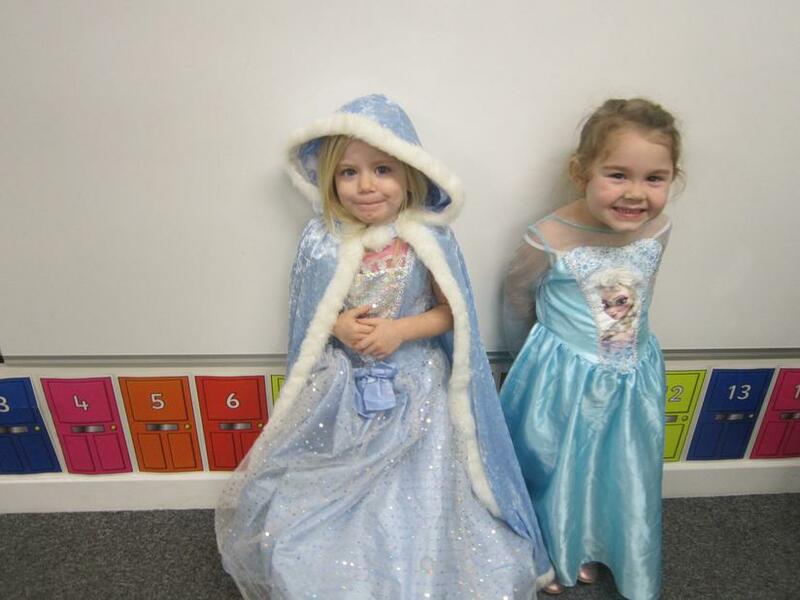 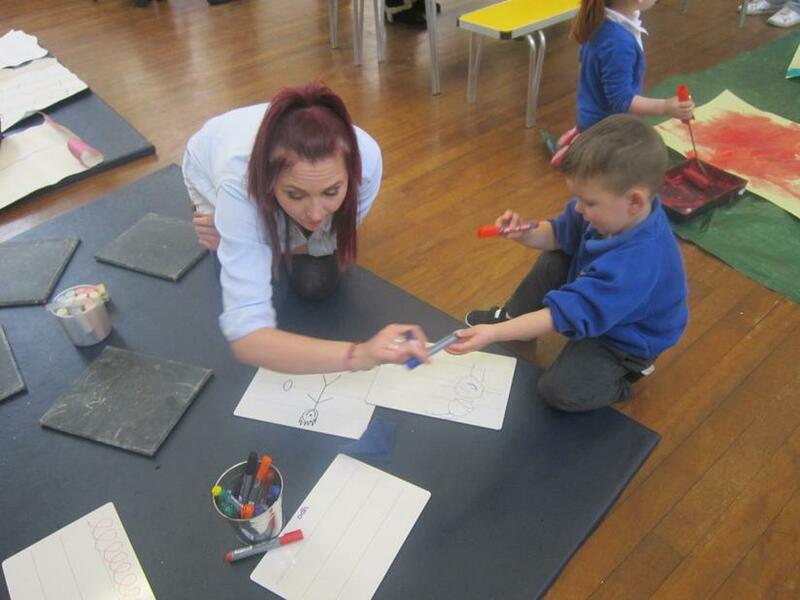 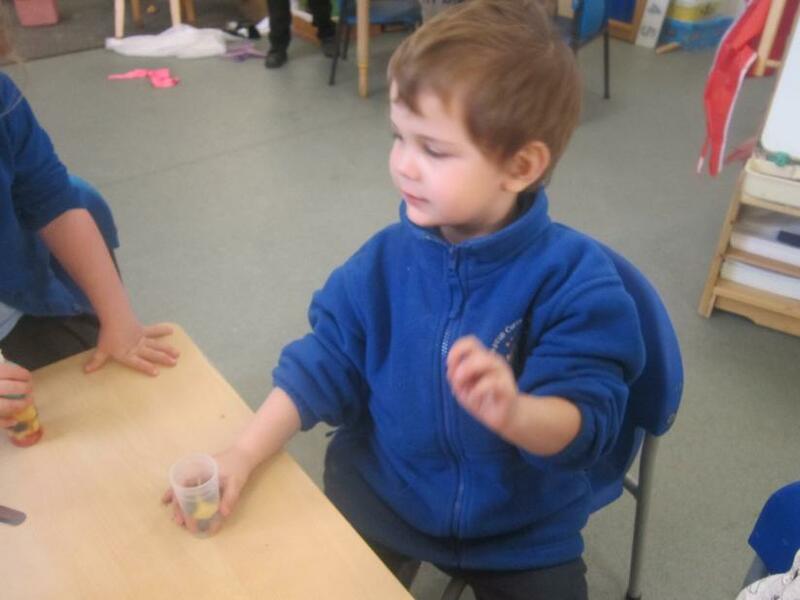 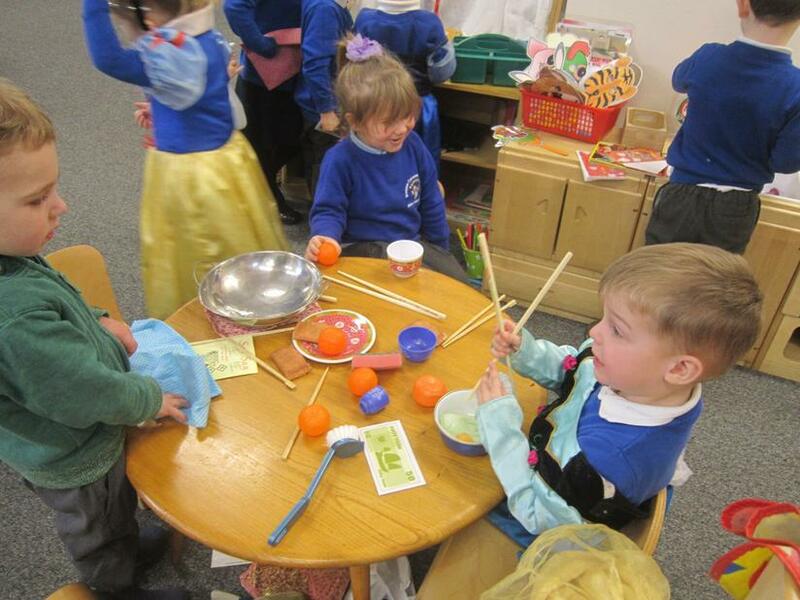 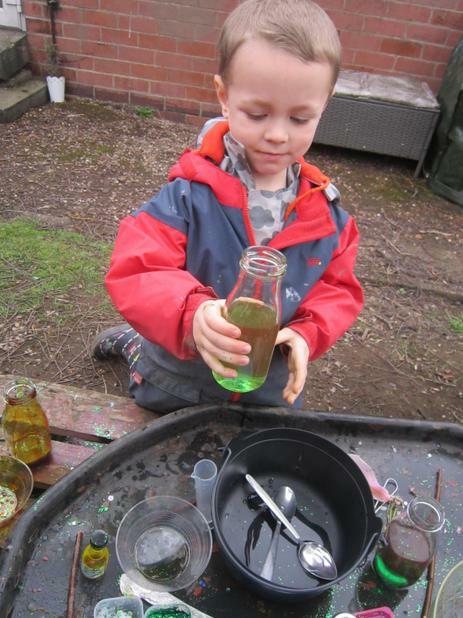 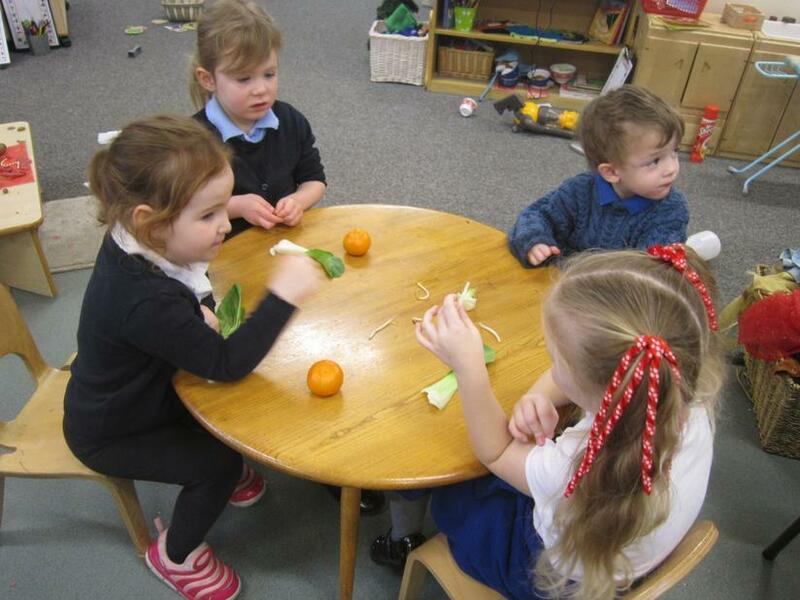 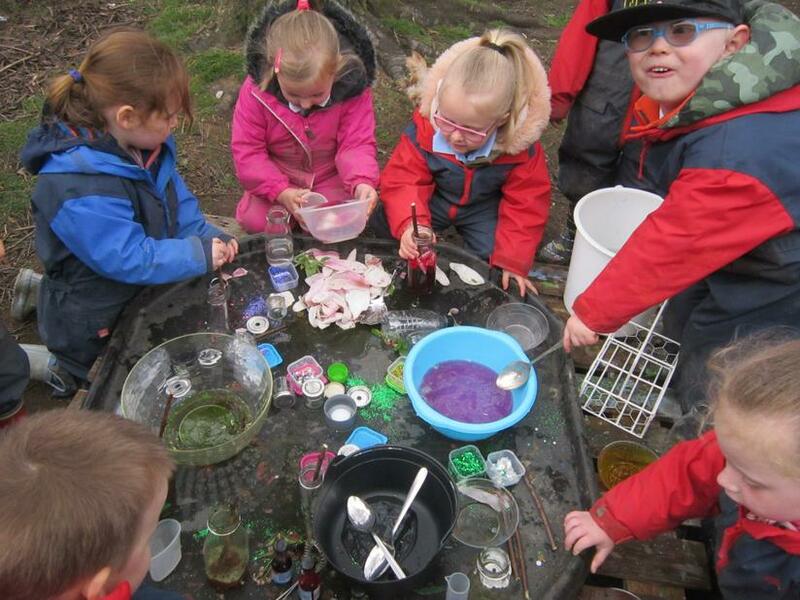 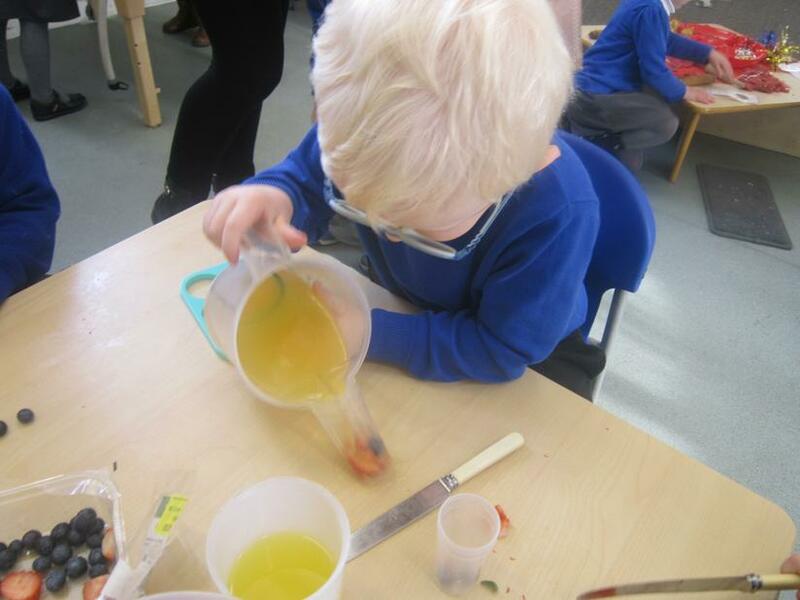 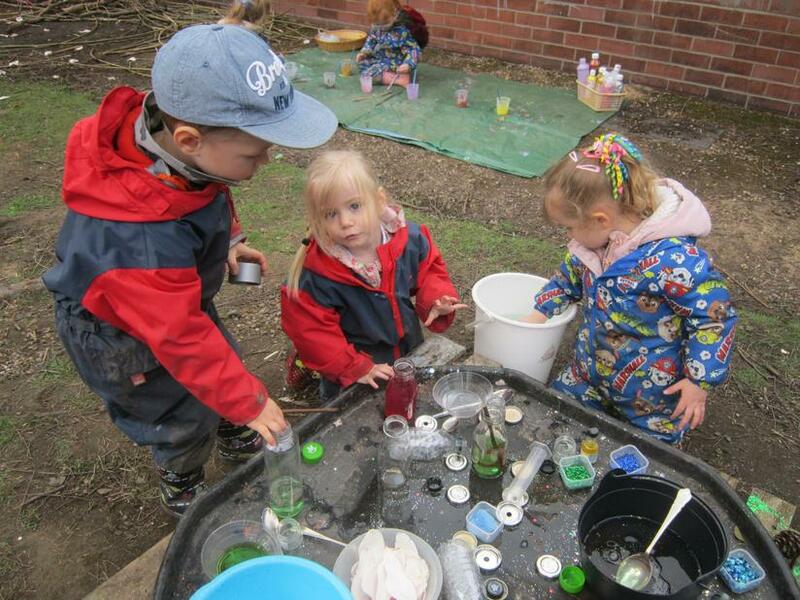 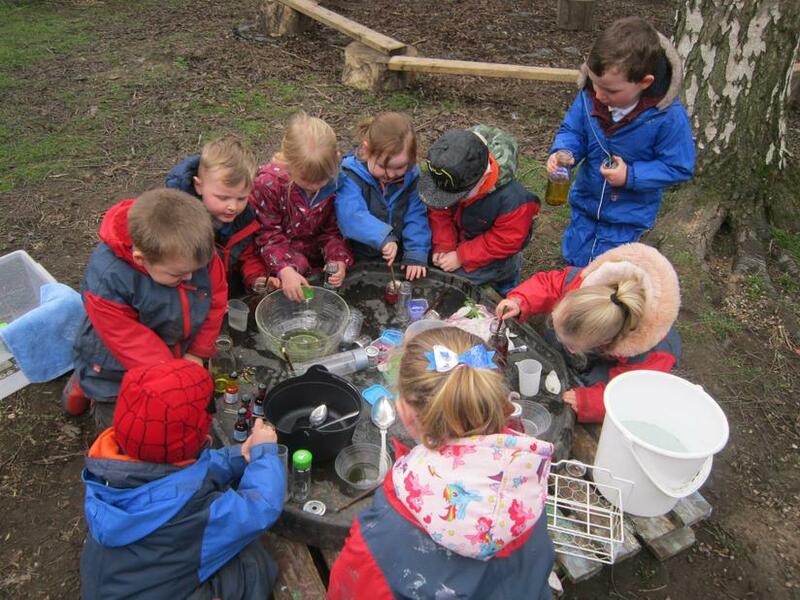 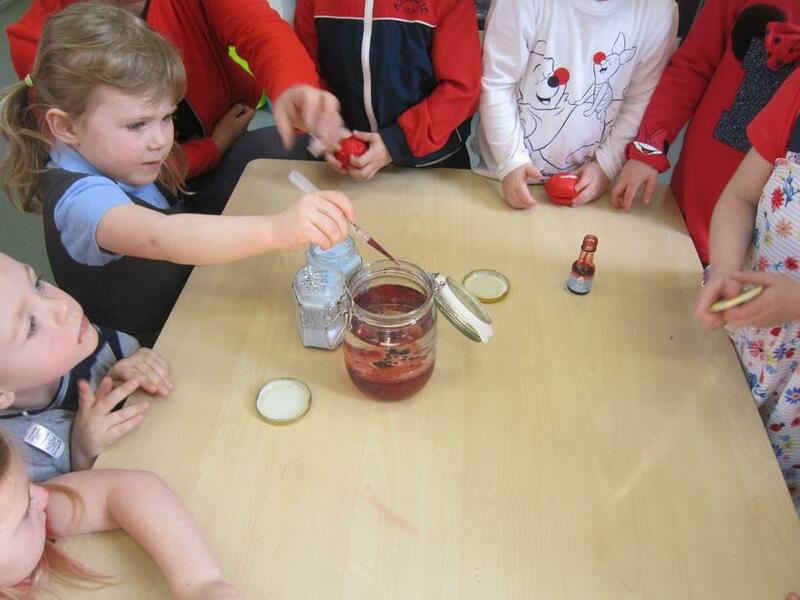 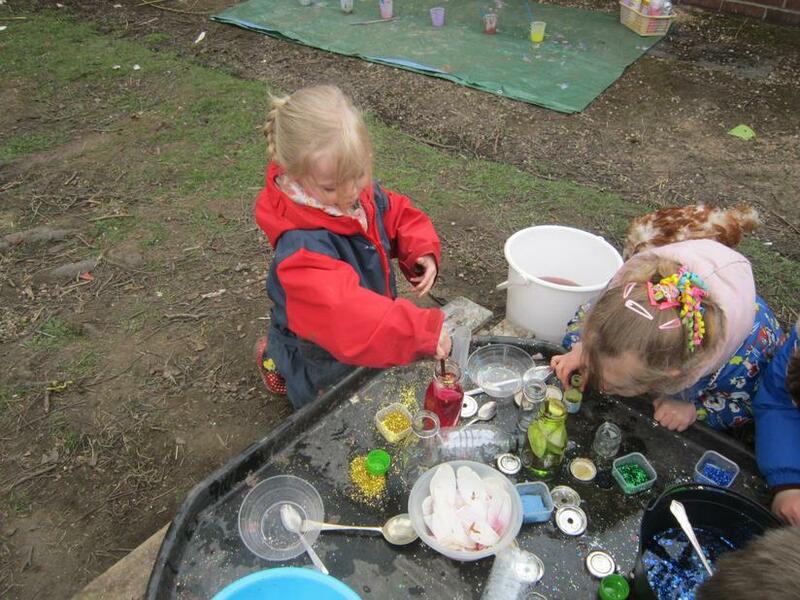 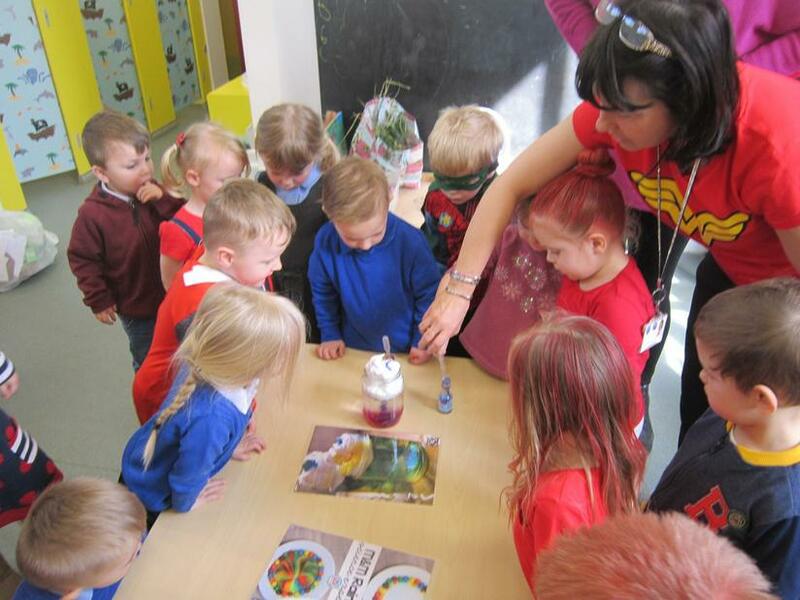 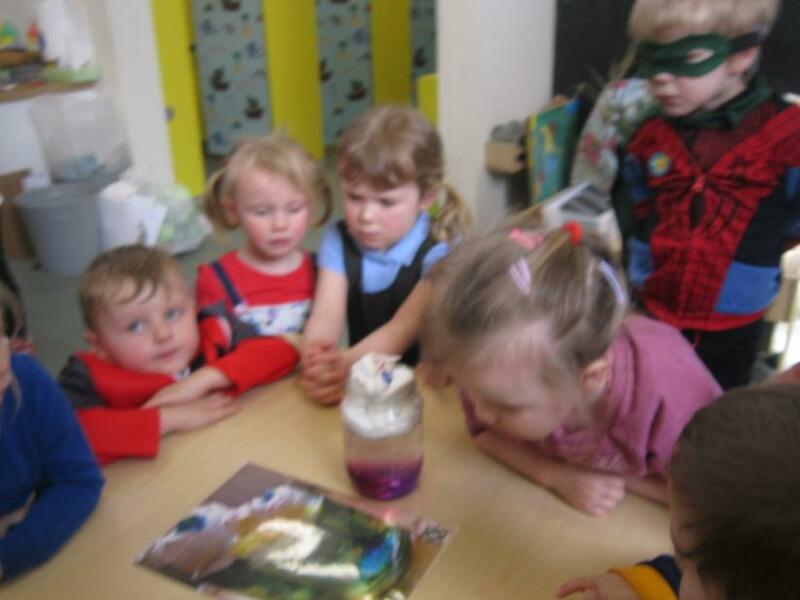 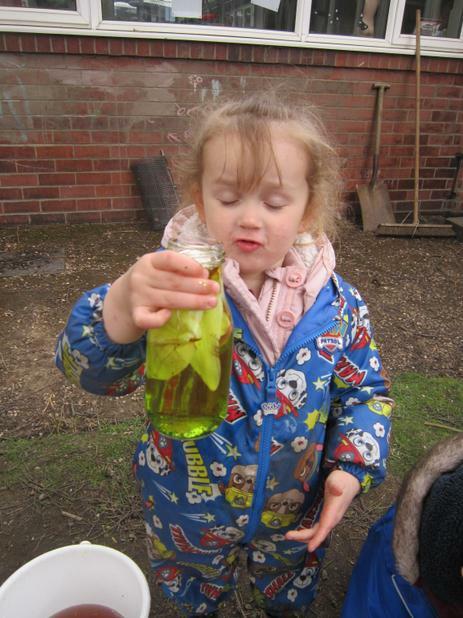 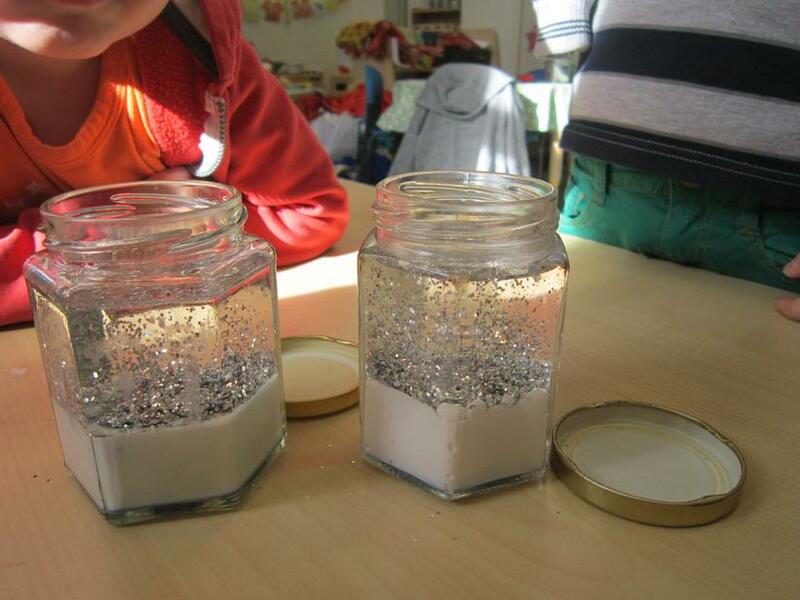 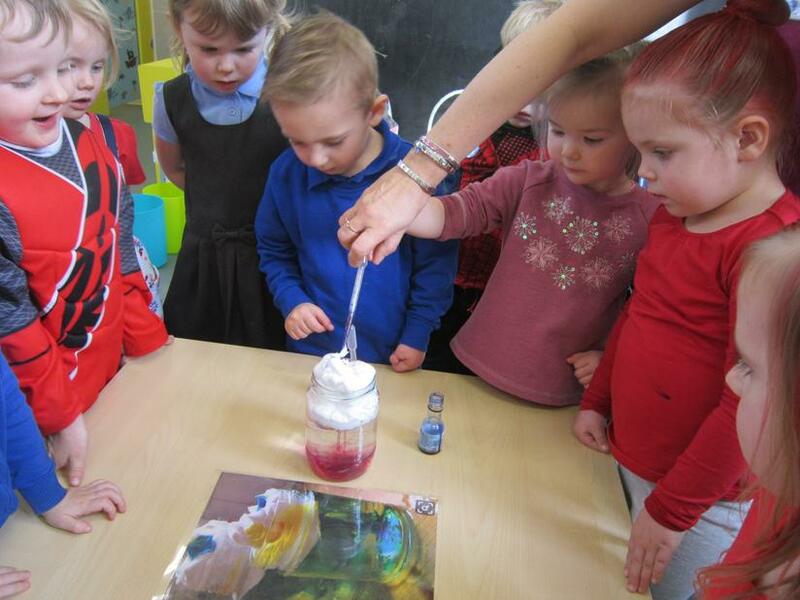 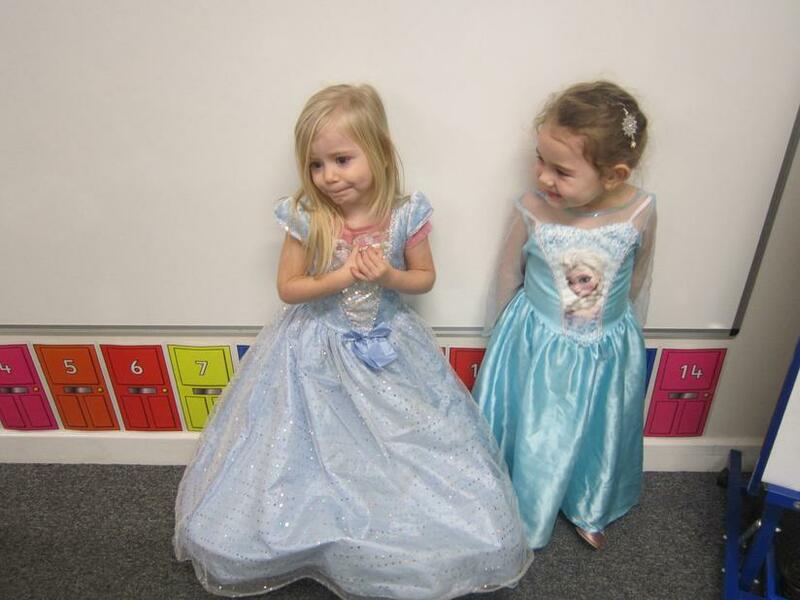 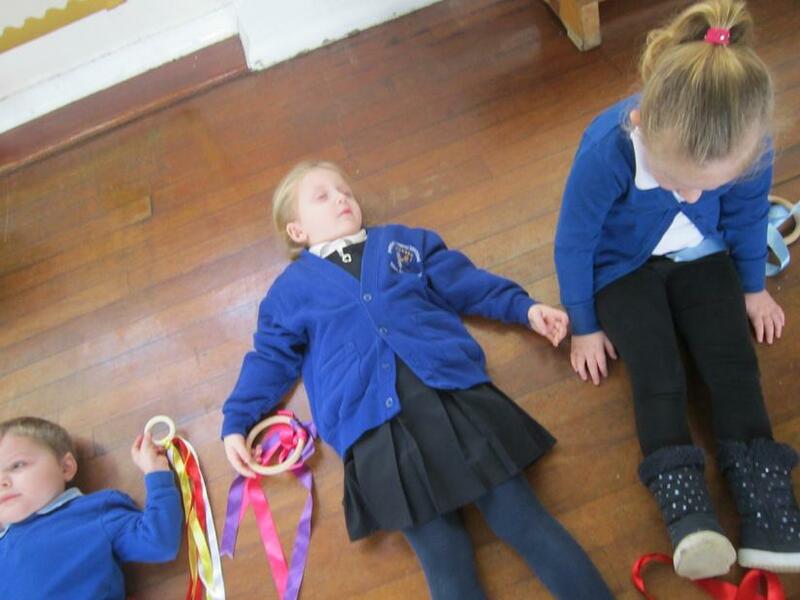 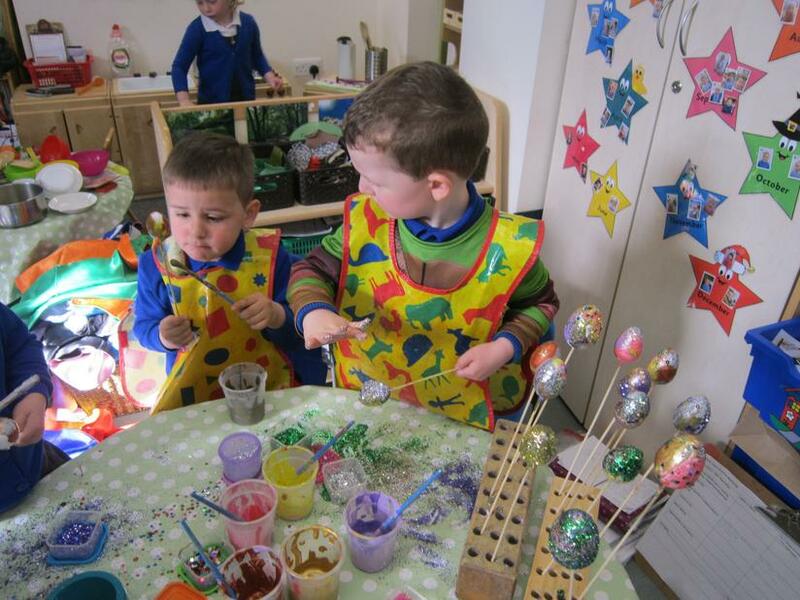 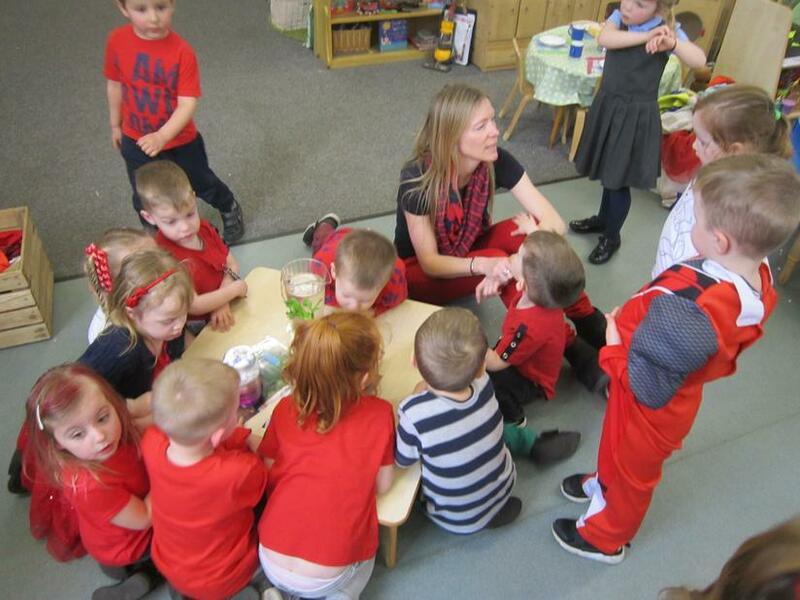 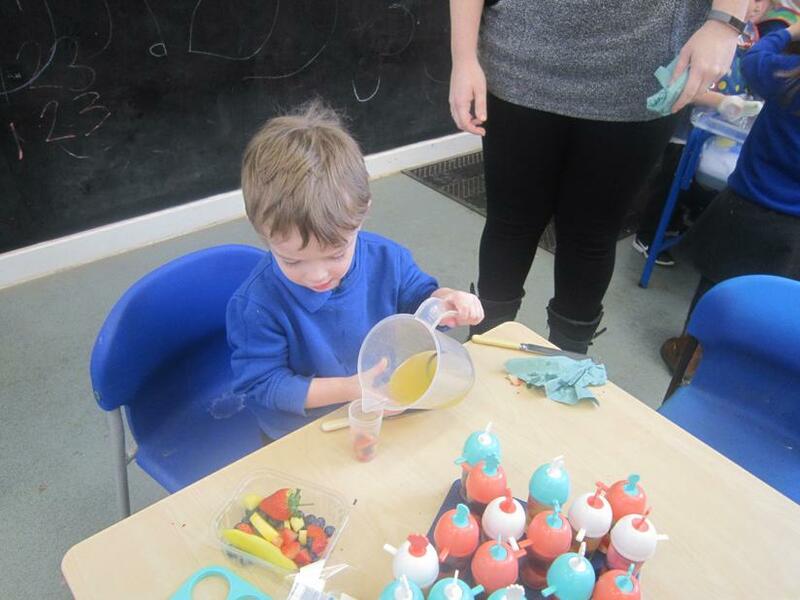 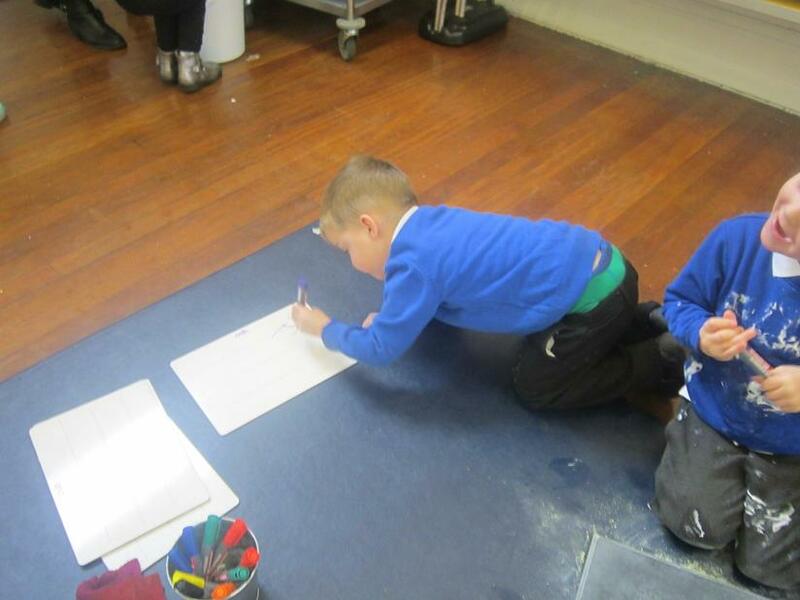 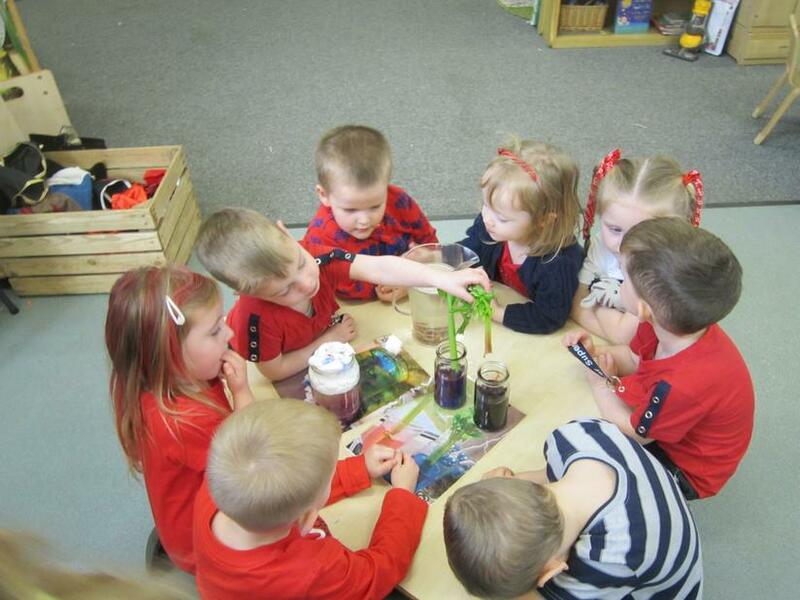 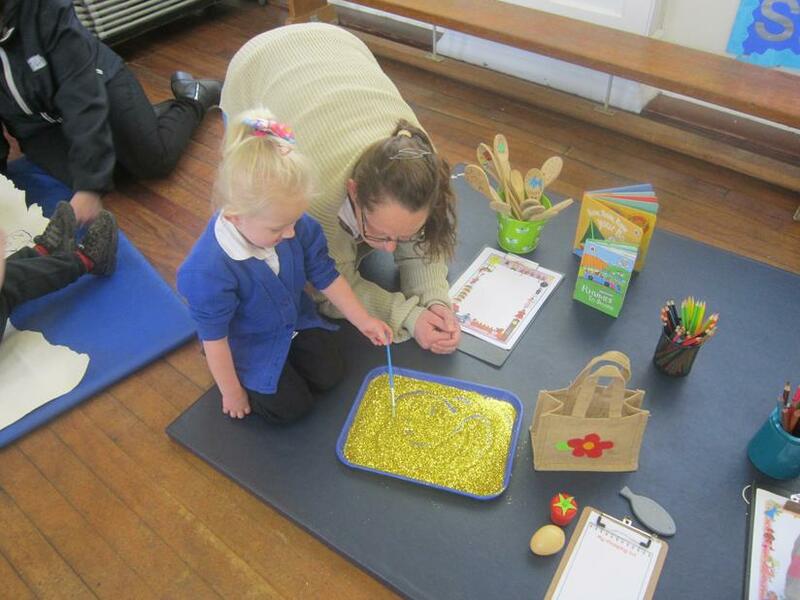 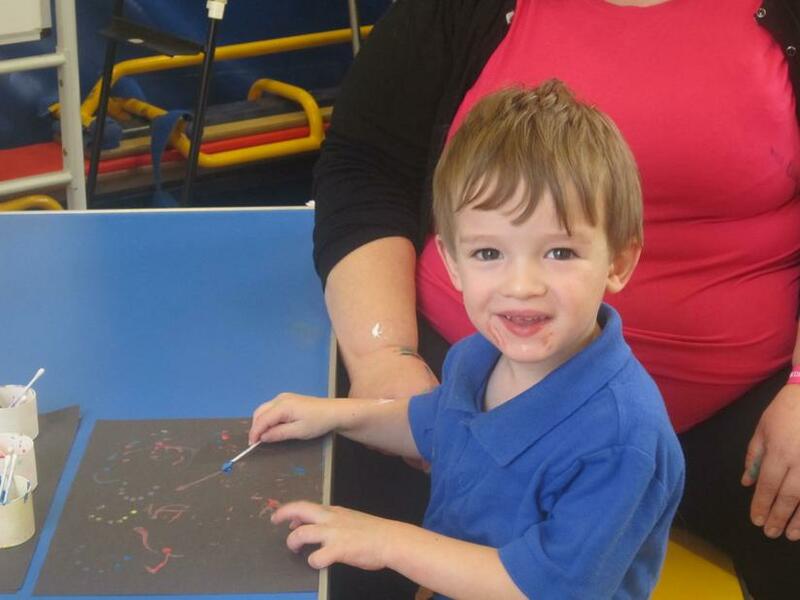 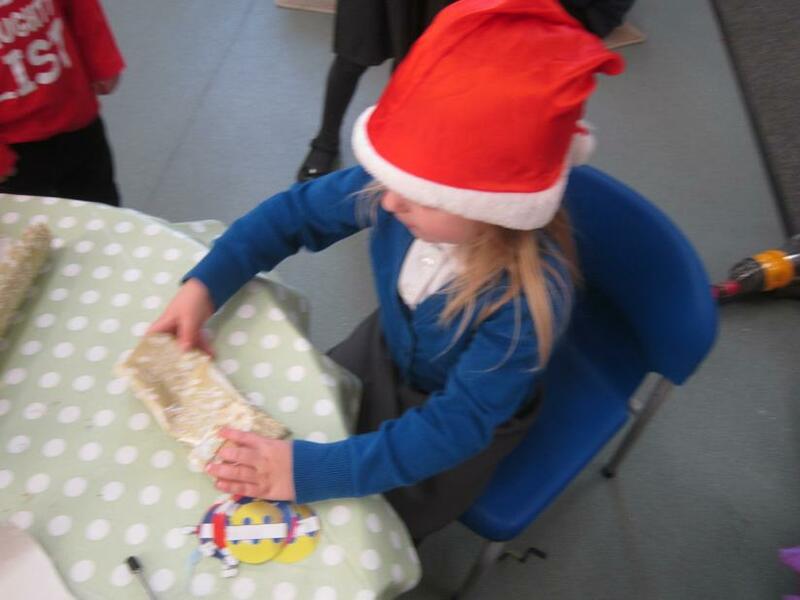 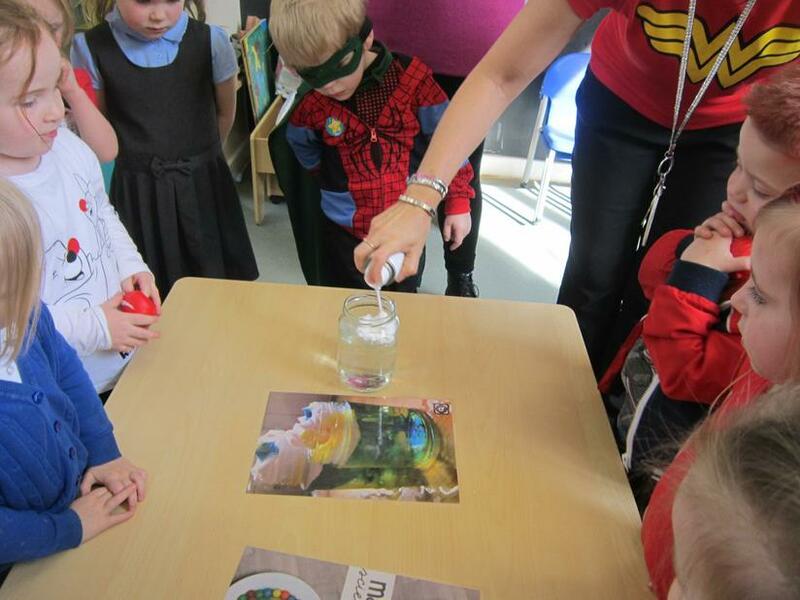 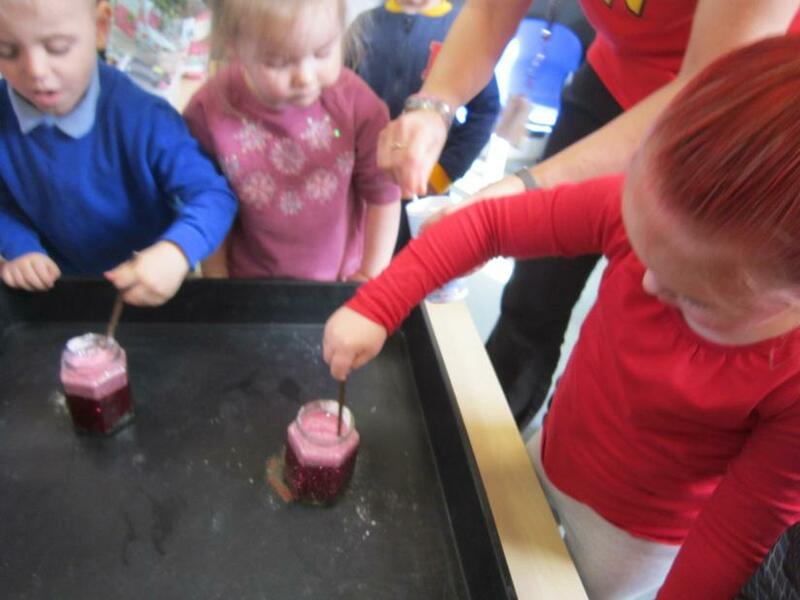 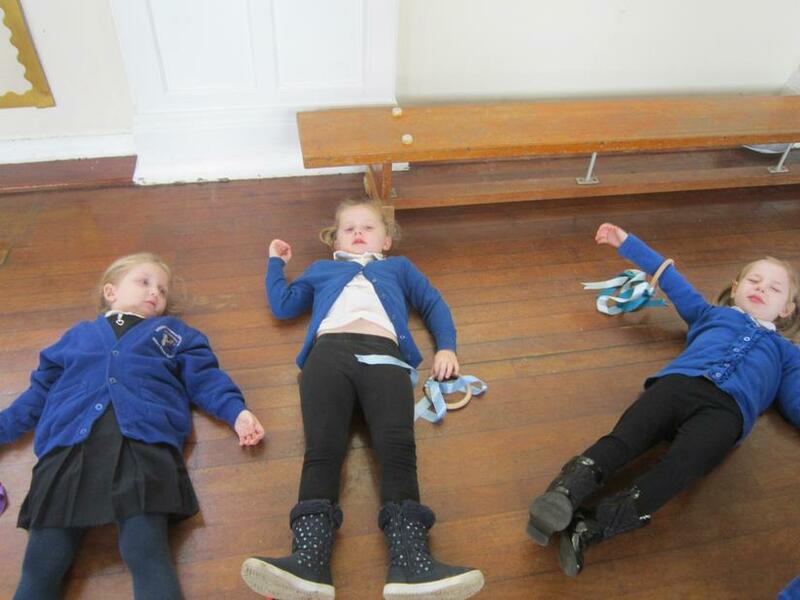 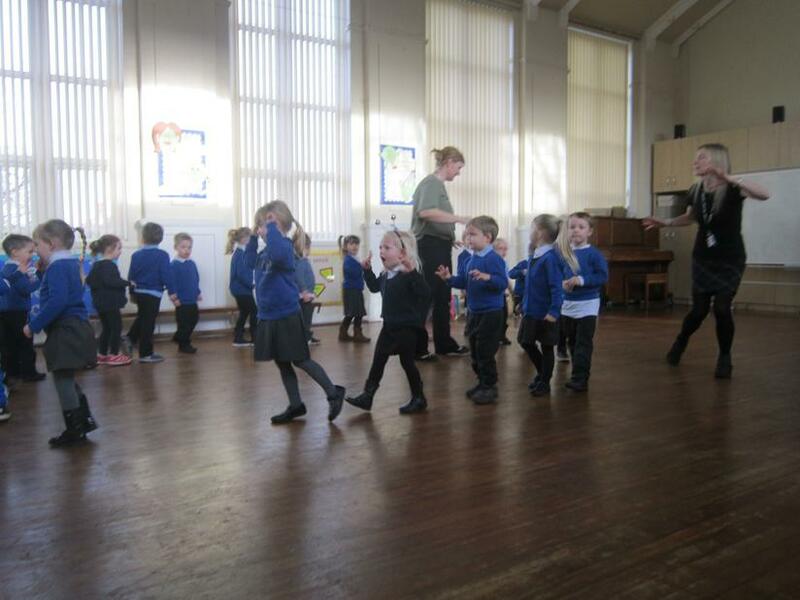 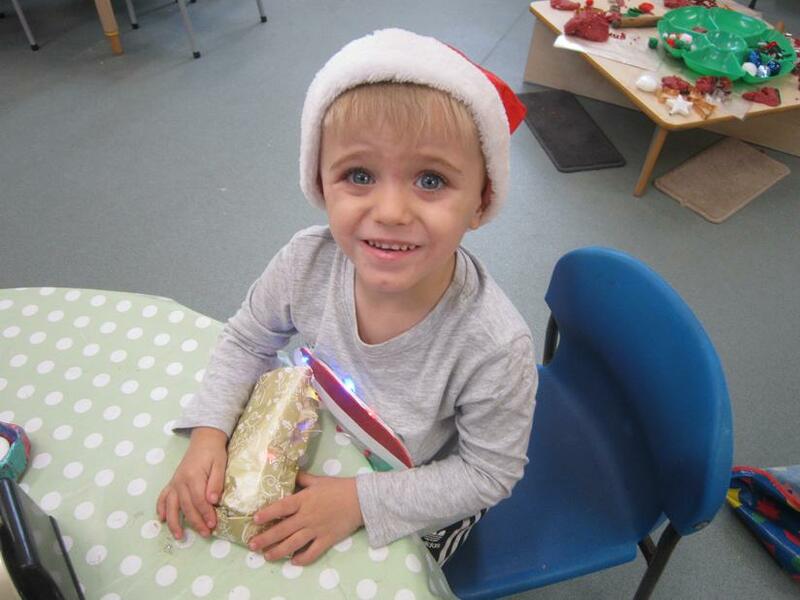 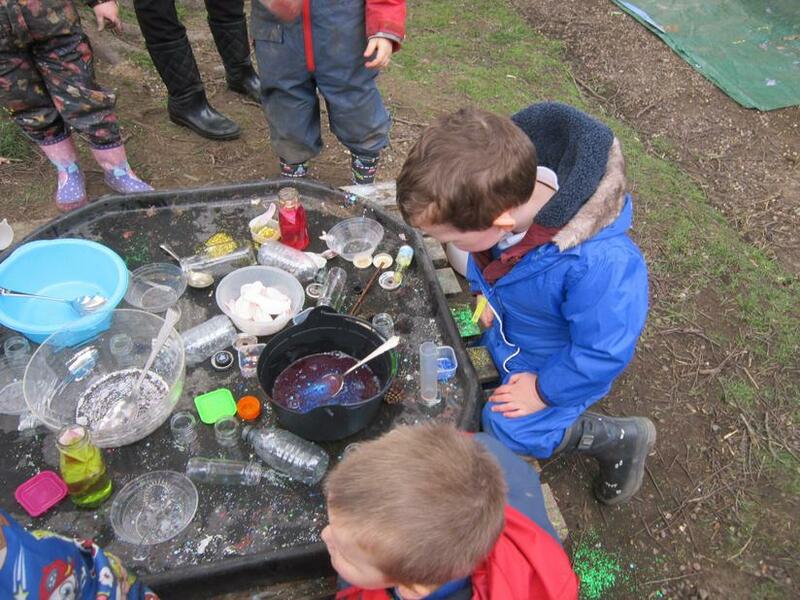 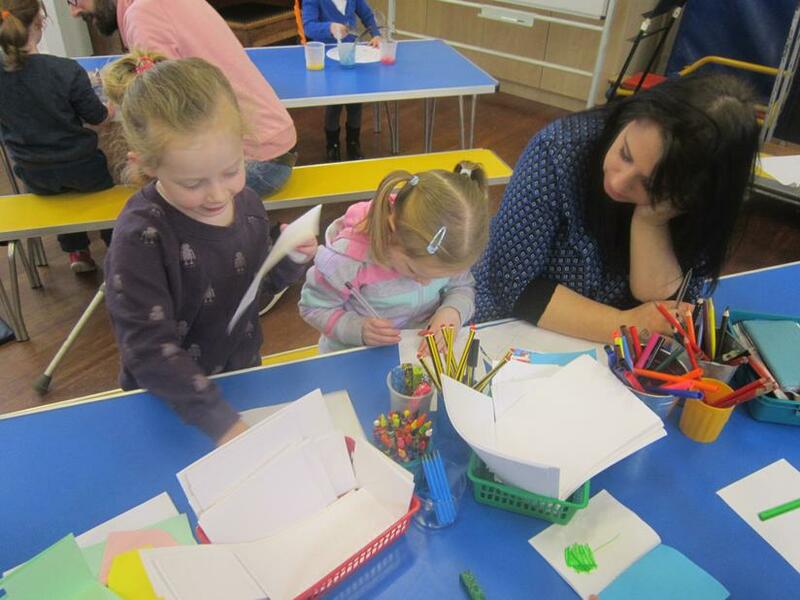 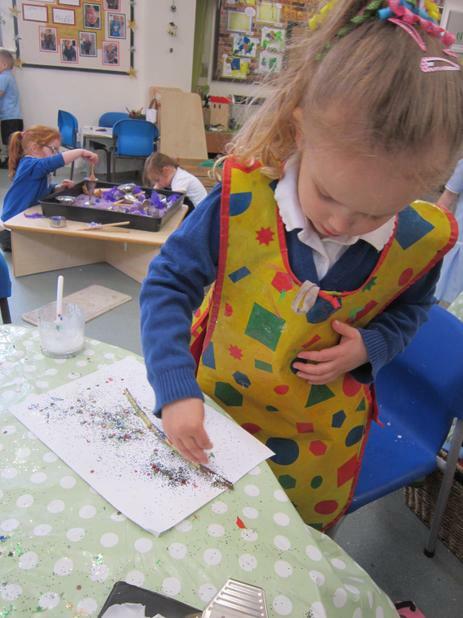 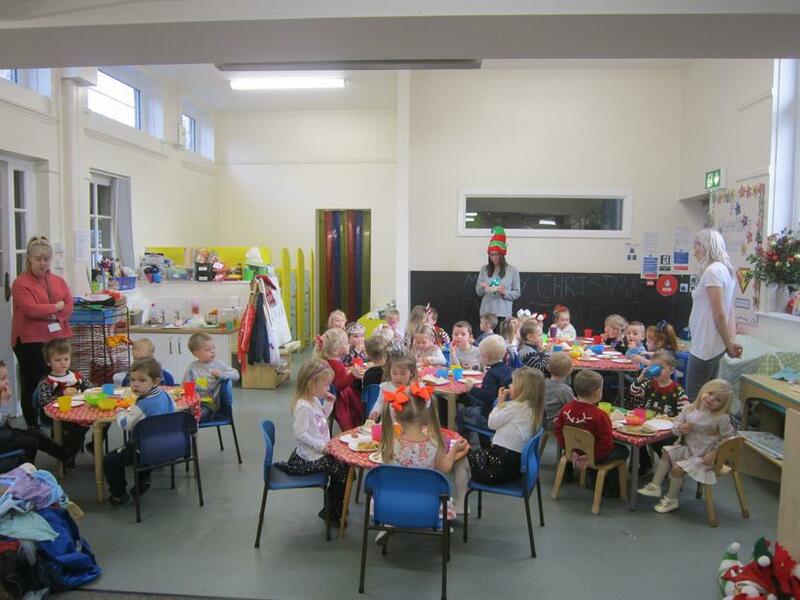 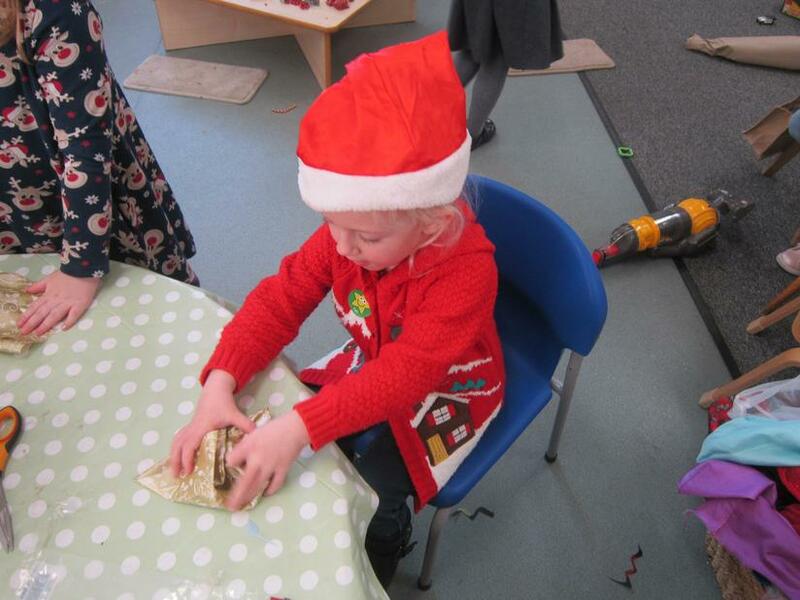 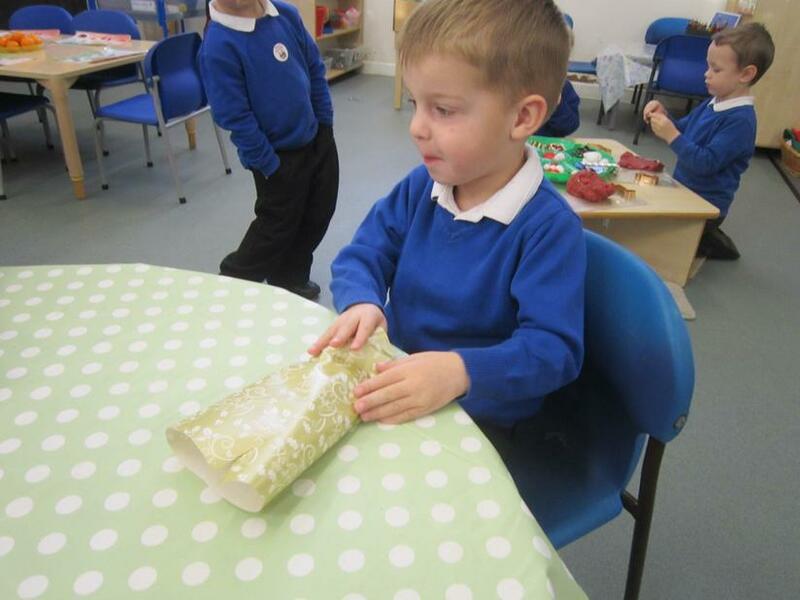 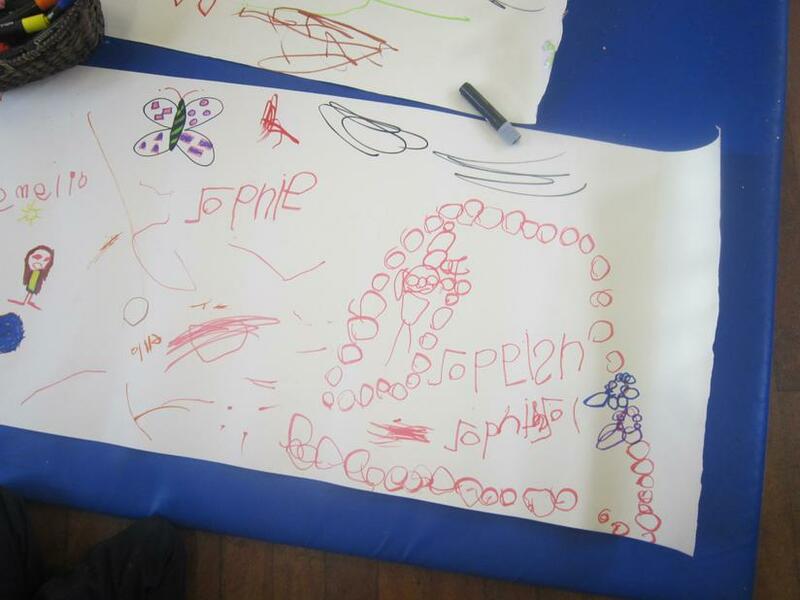 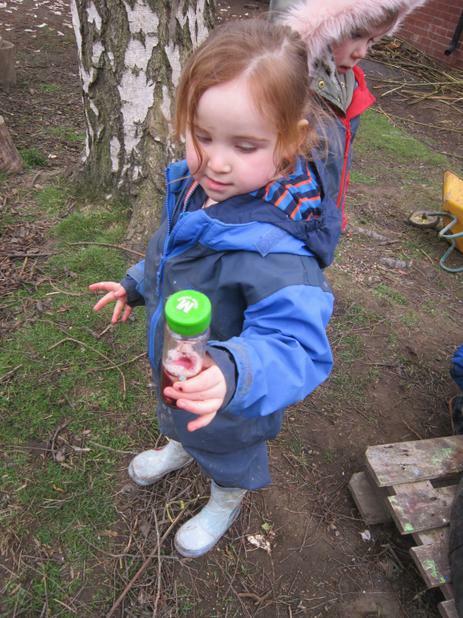 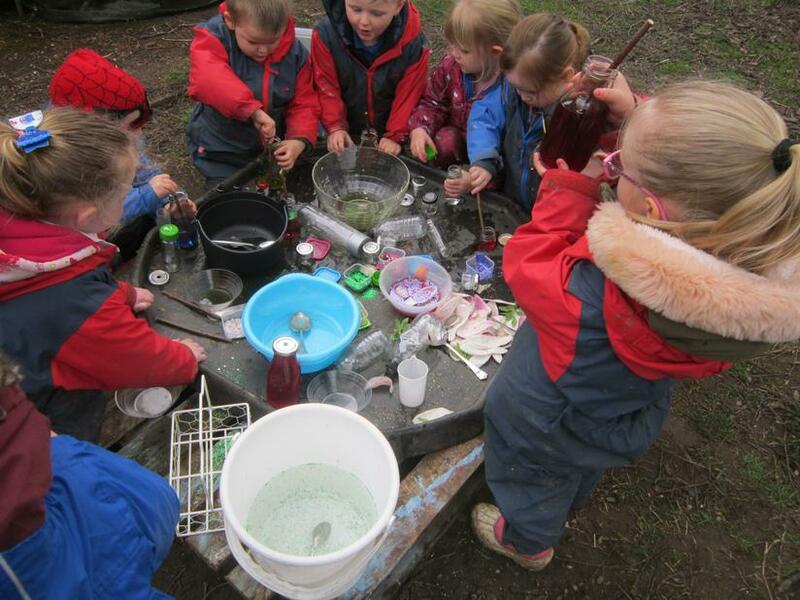 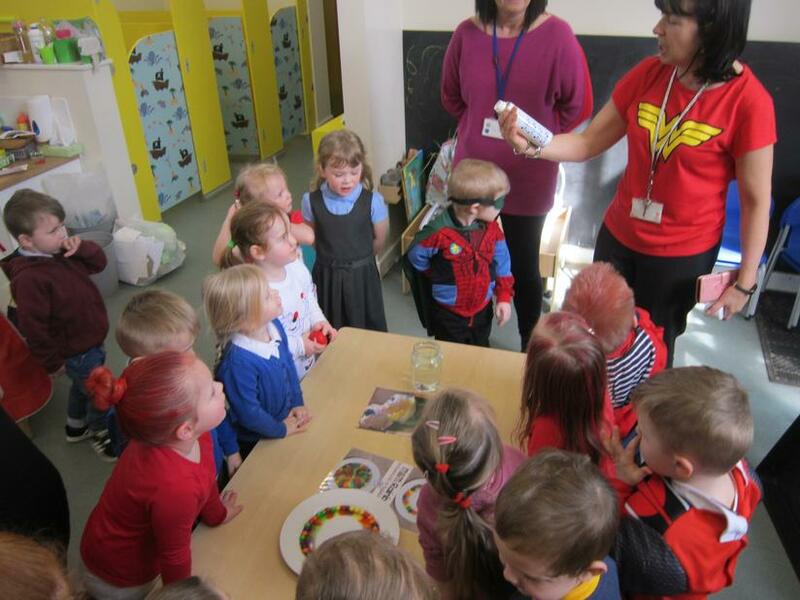 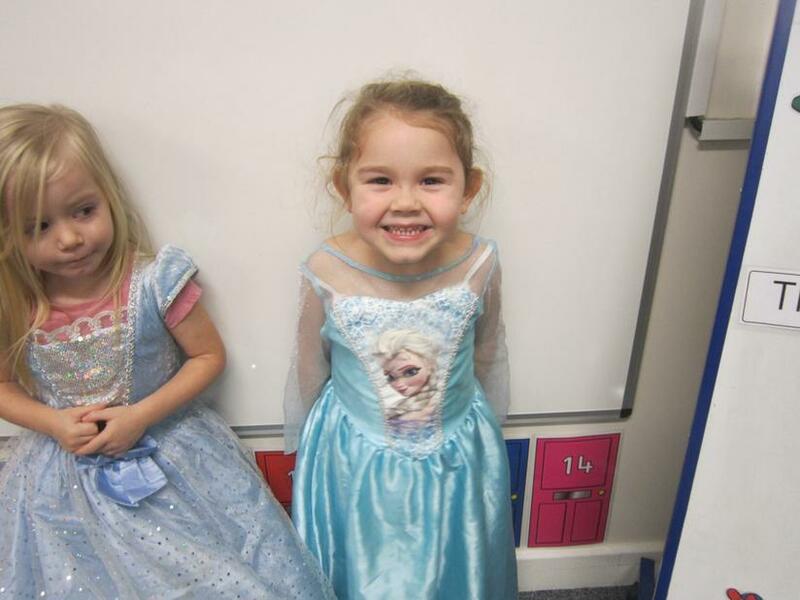 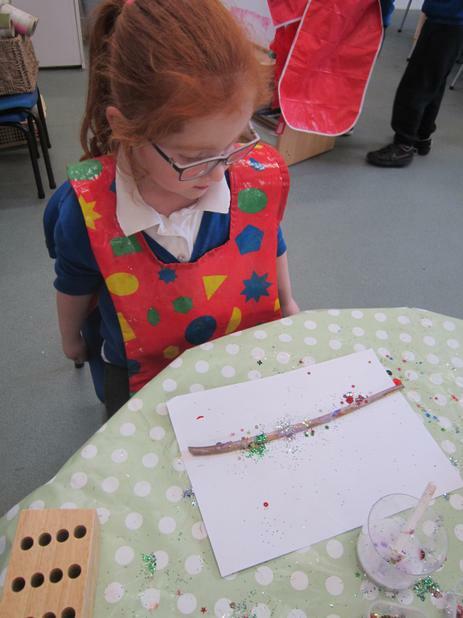 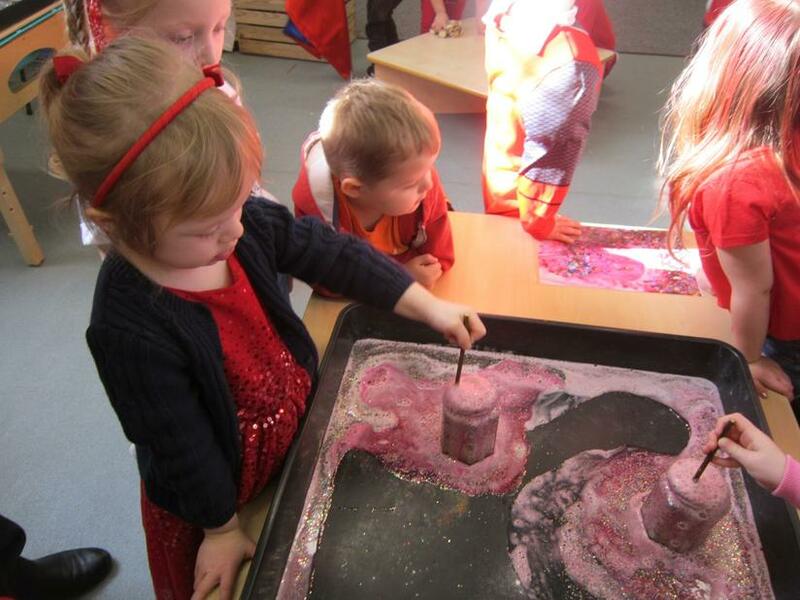 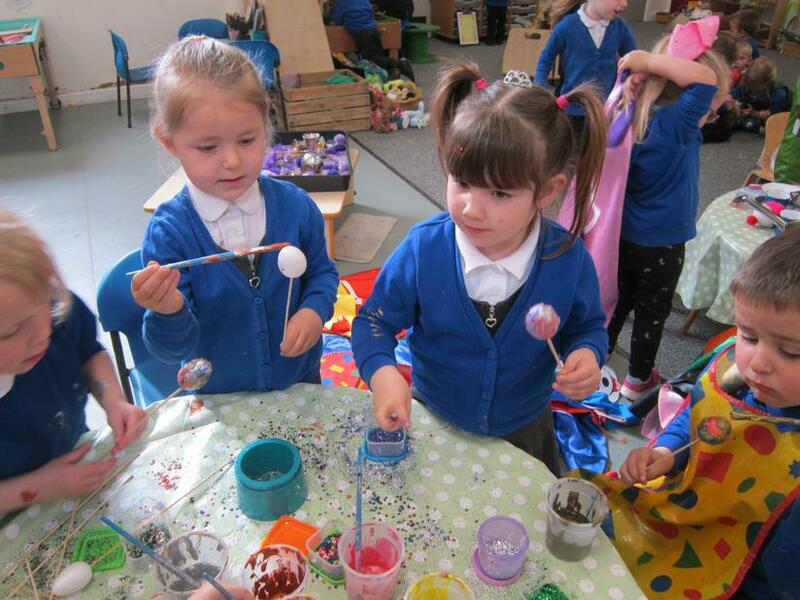 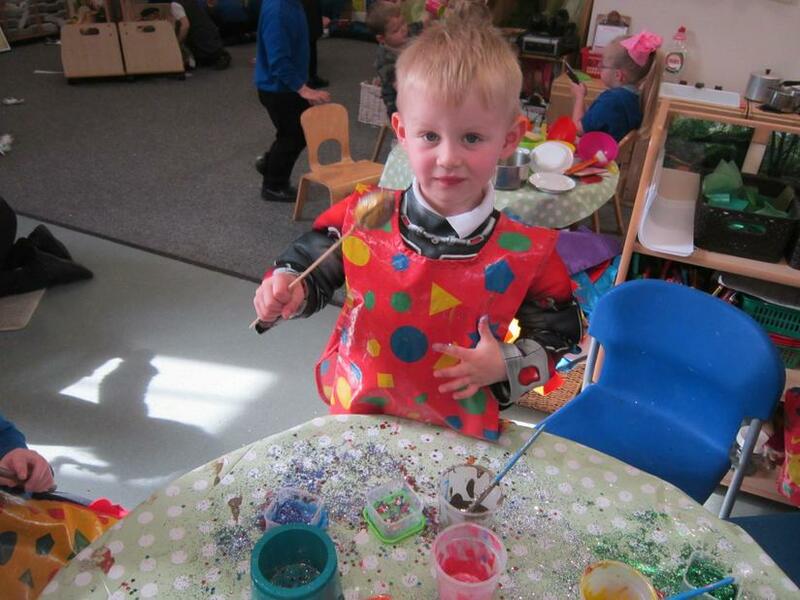 Following on from our castle magic key adventure the children made potions and magic wands. 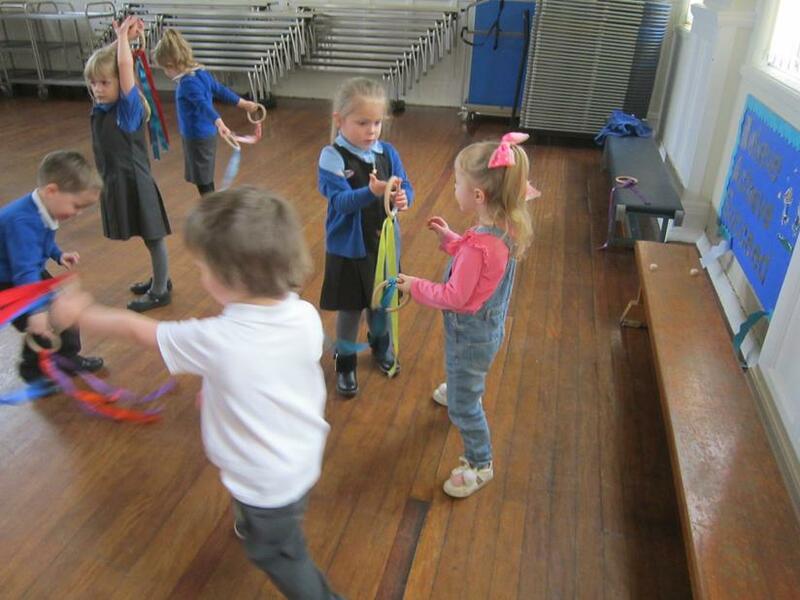 Swiggle as you wiggle !!! 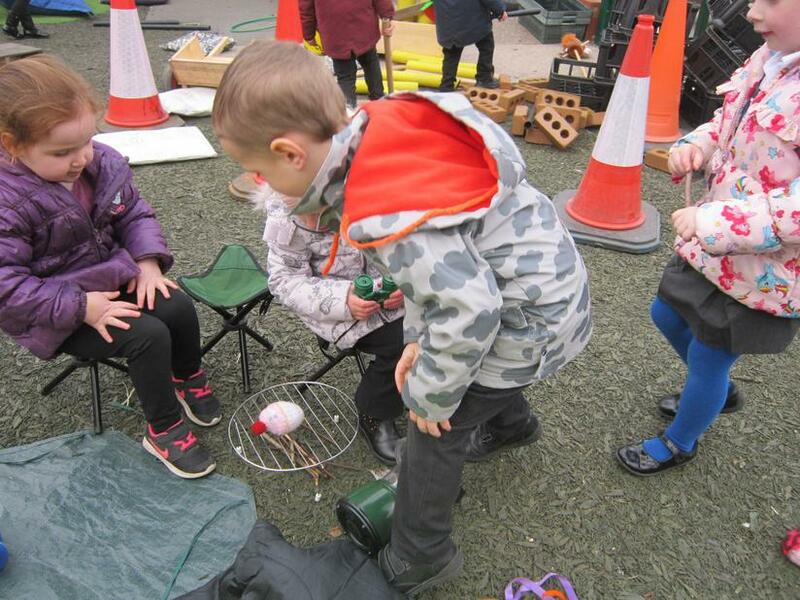 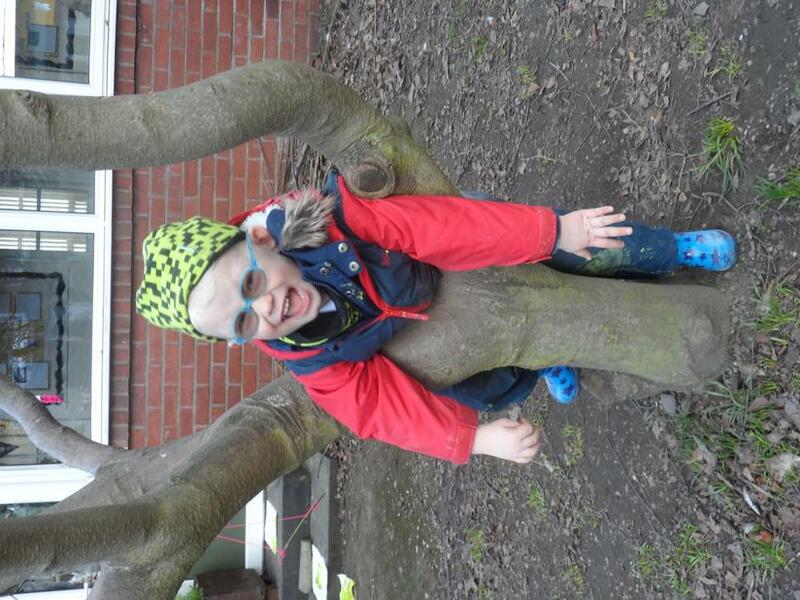 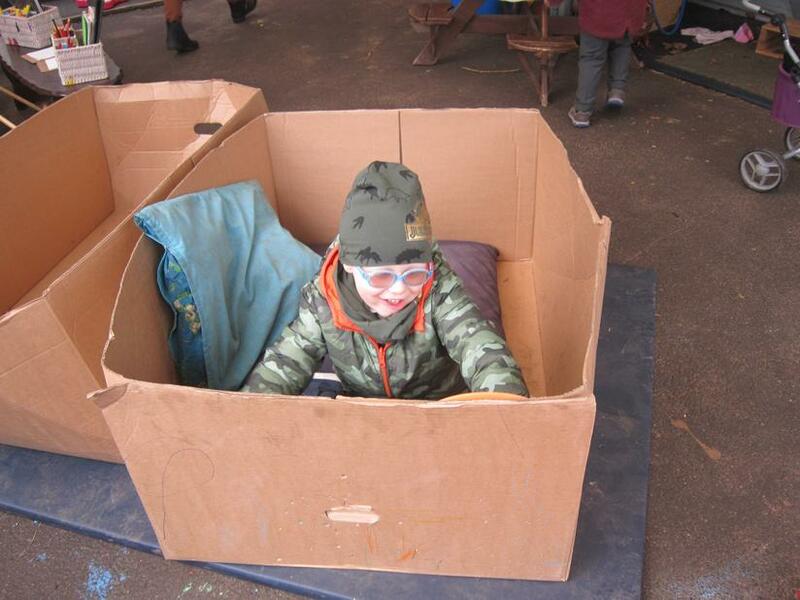 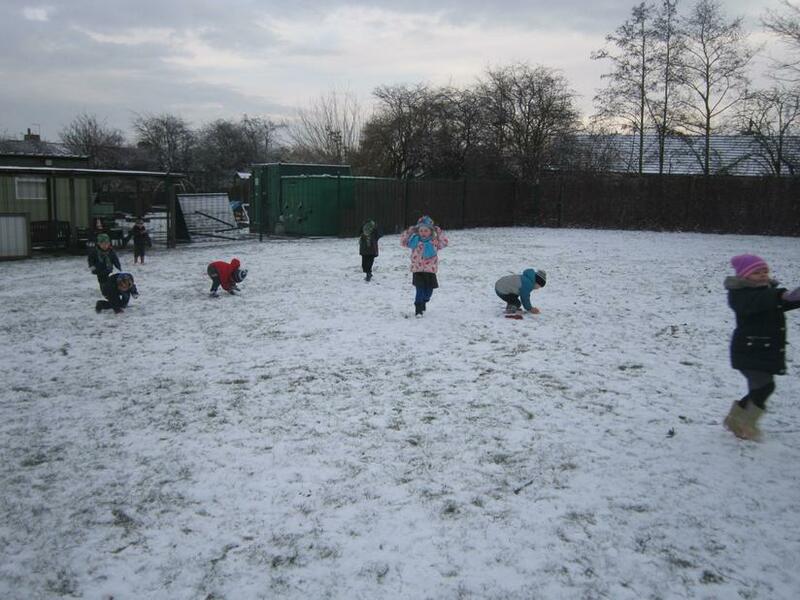 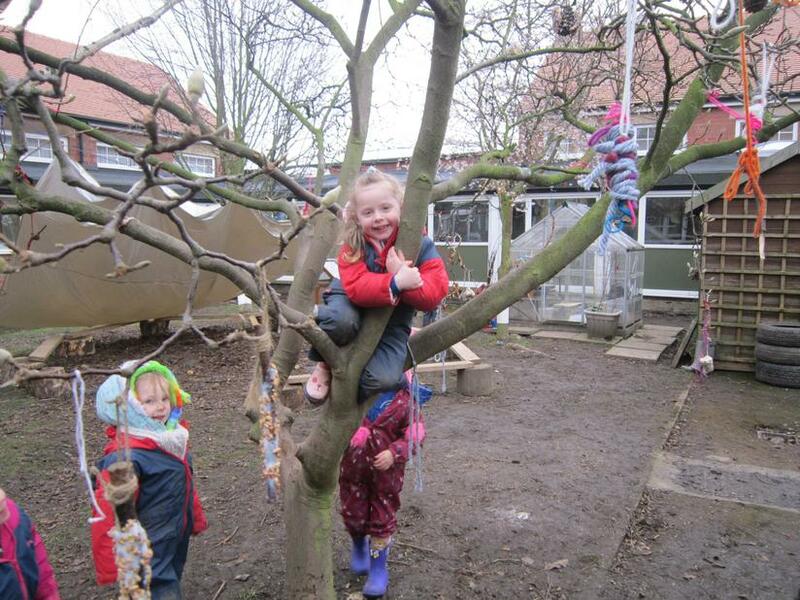 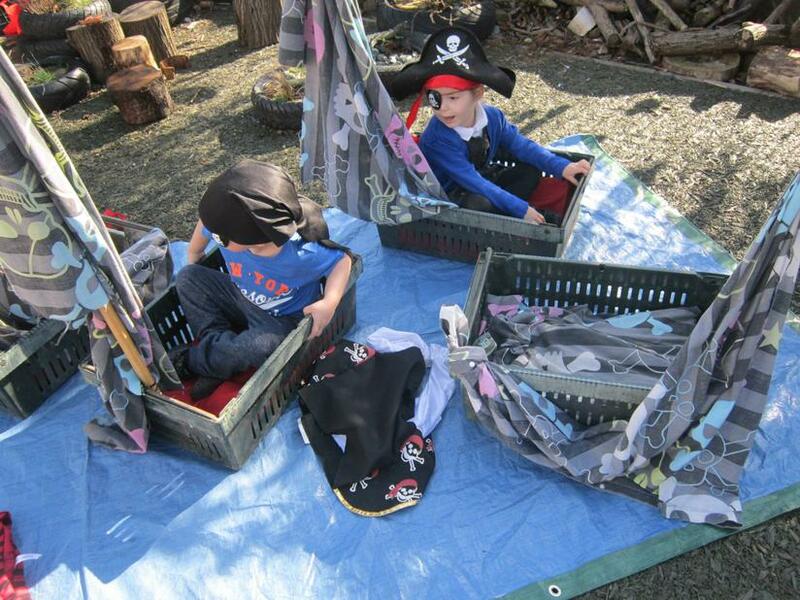 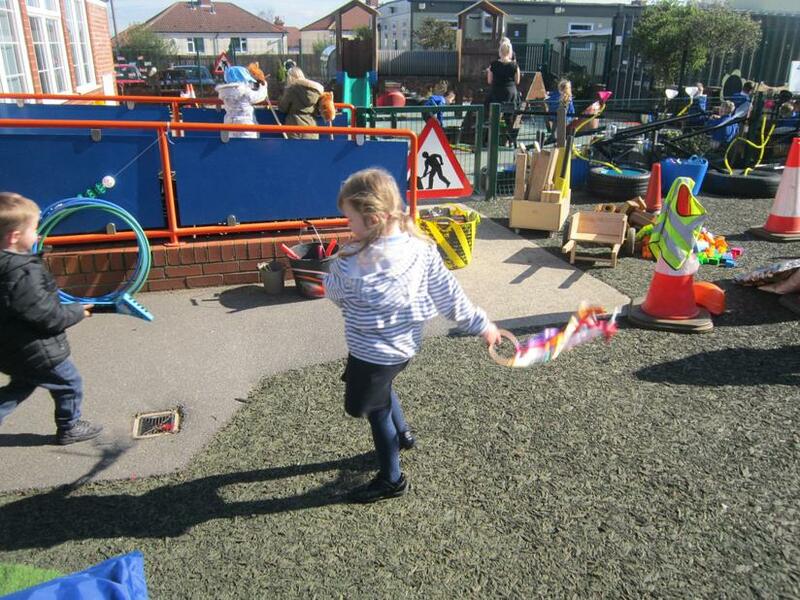 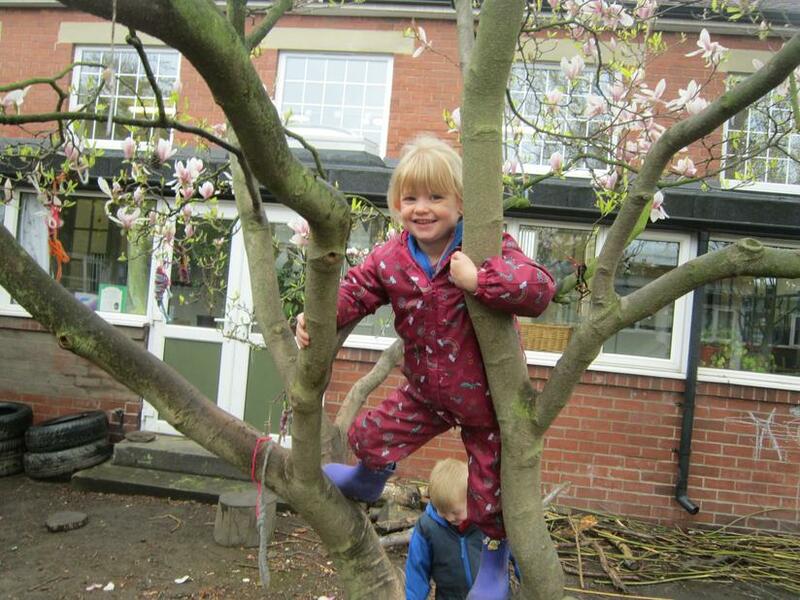 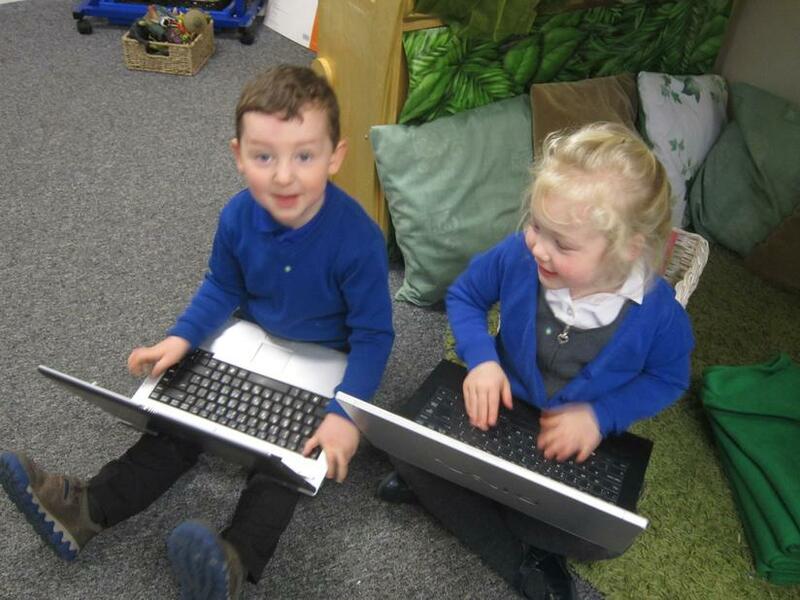 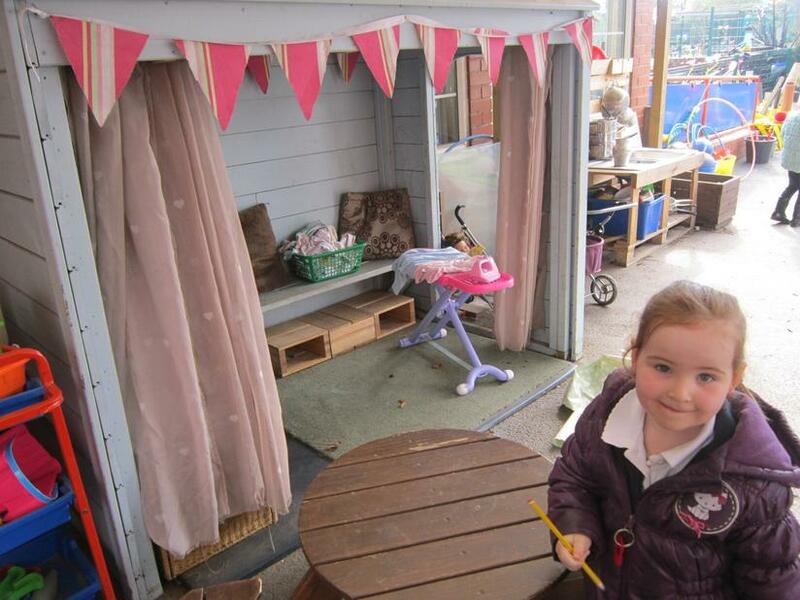 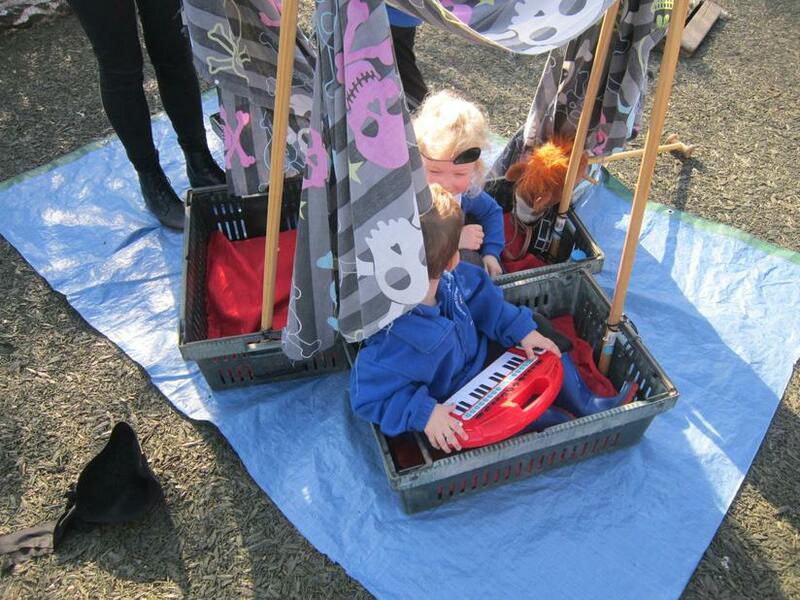 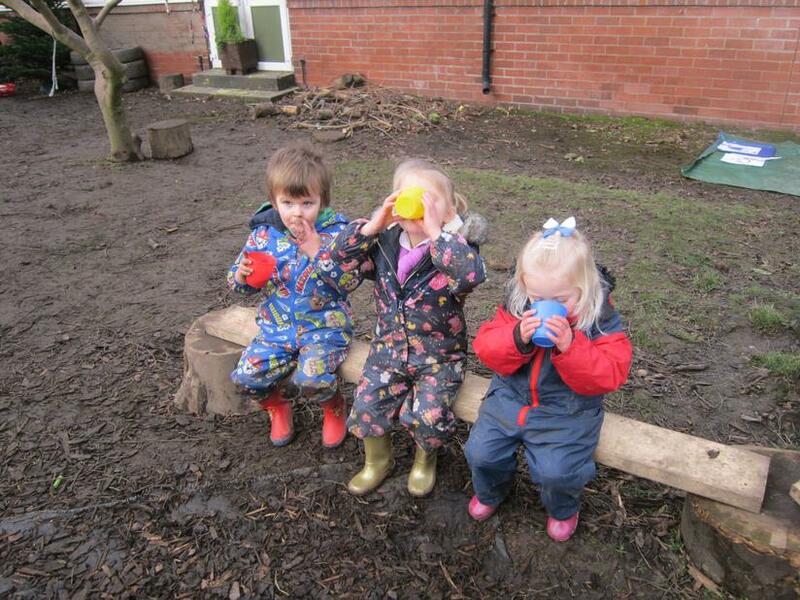 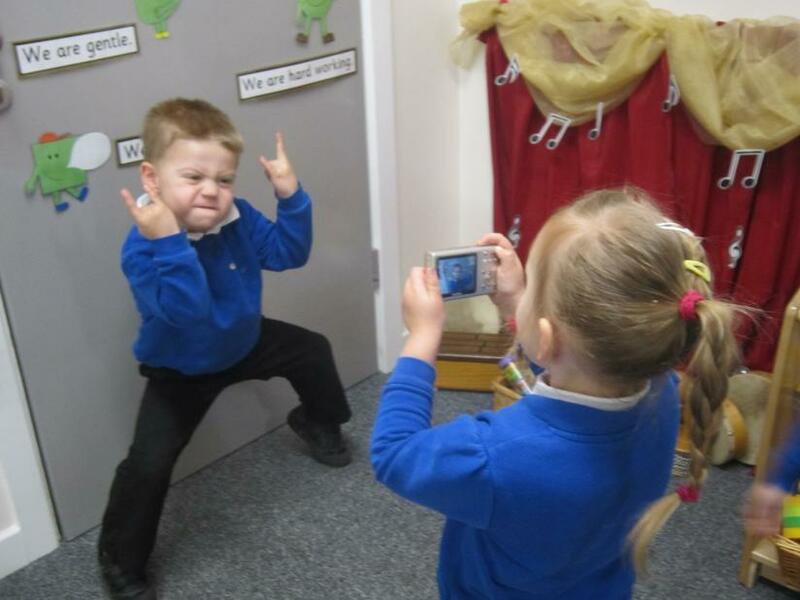 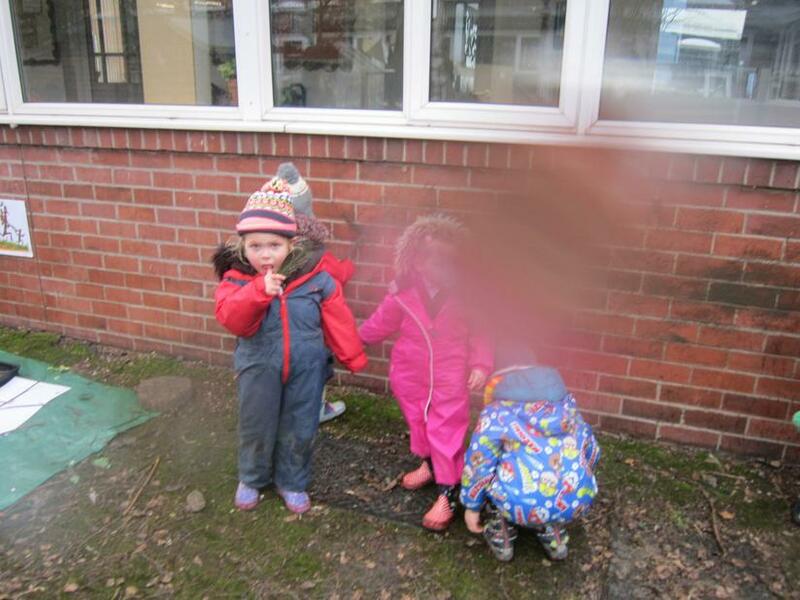 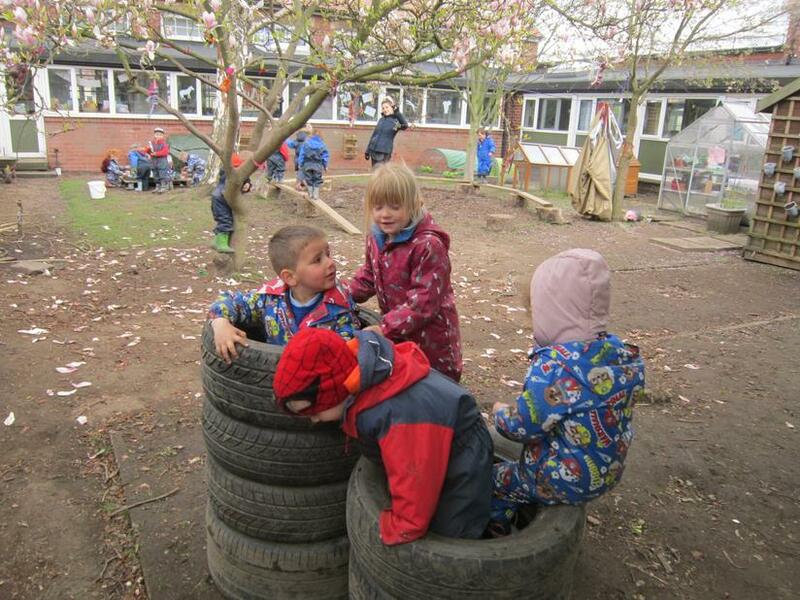 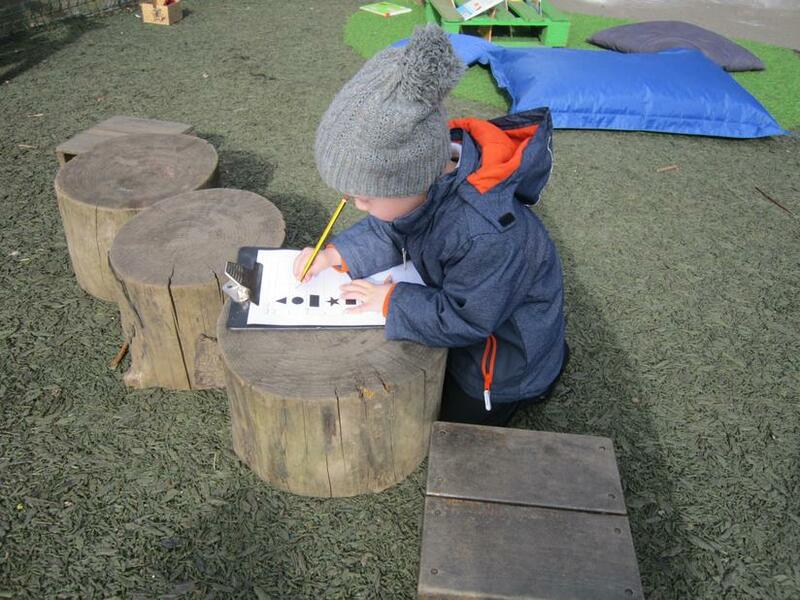 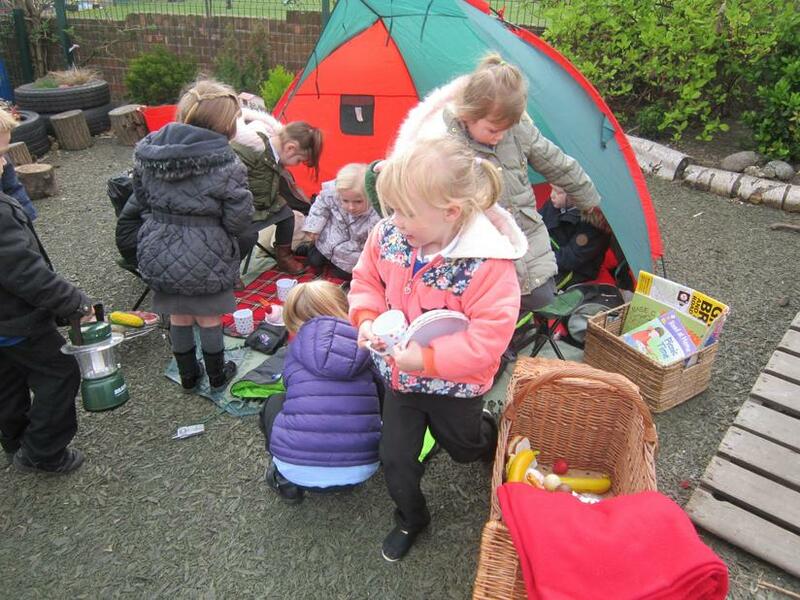 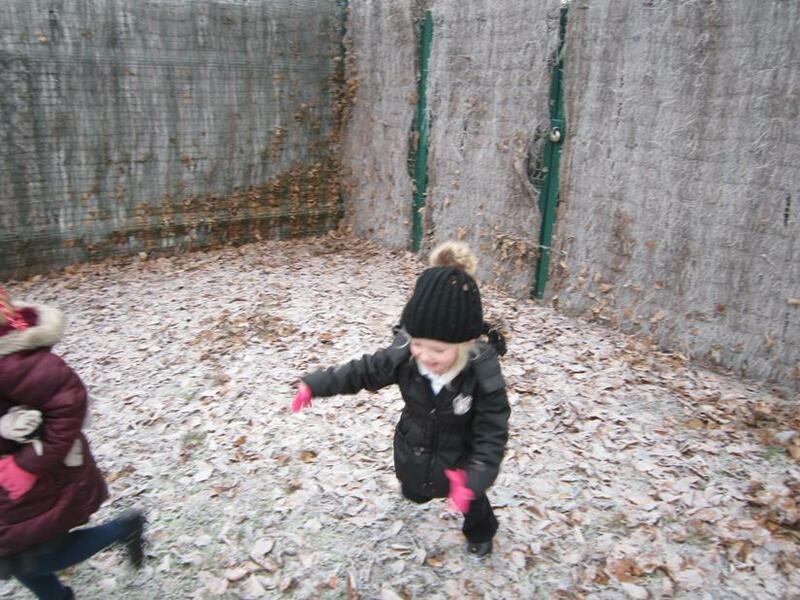 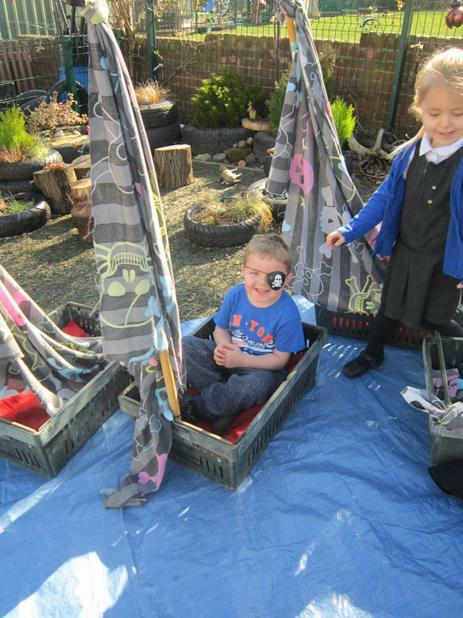 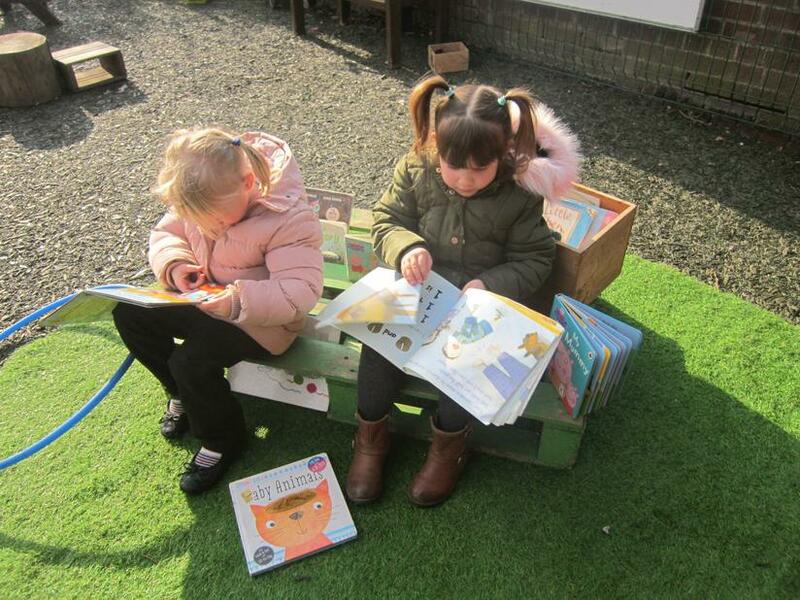 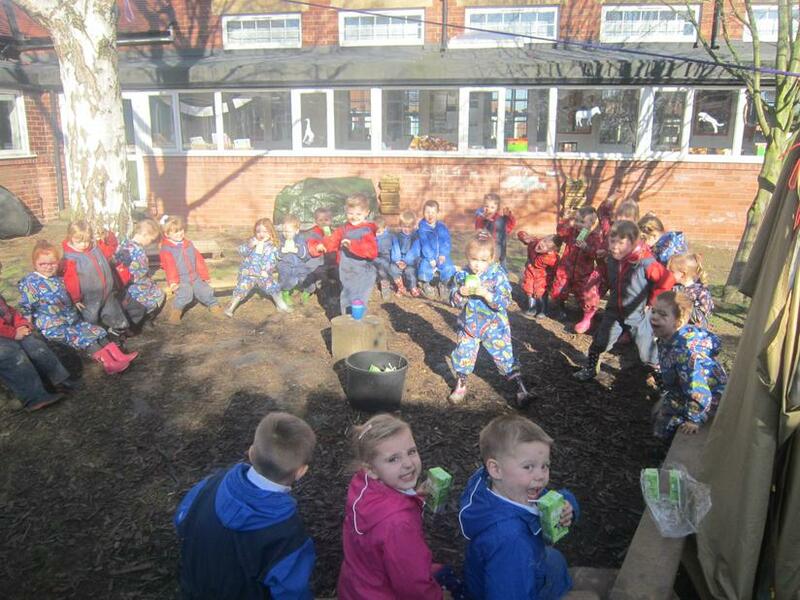 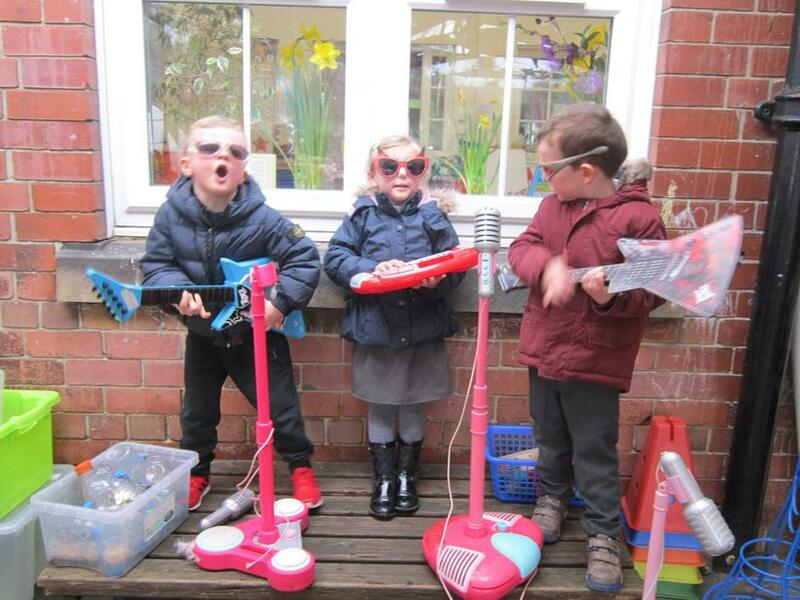 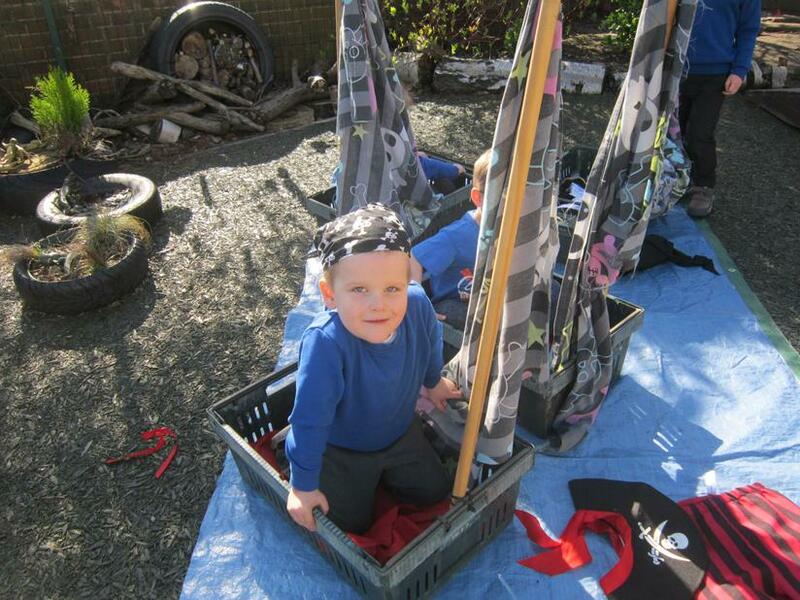 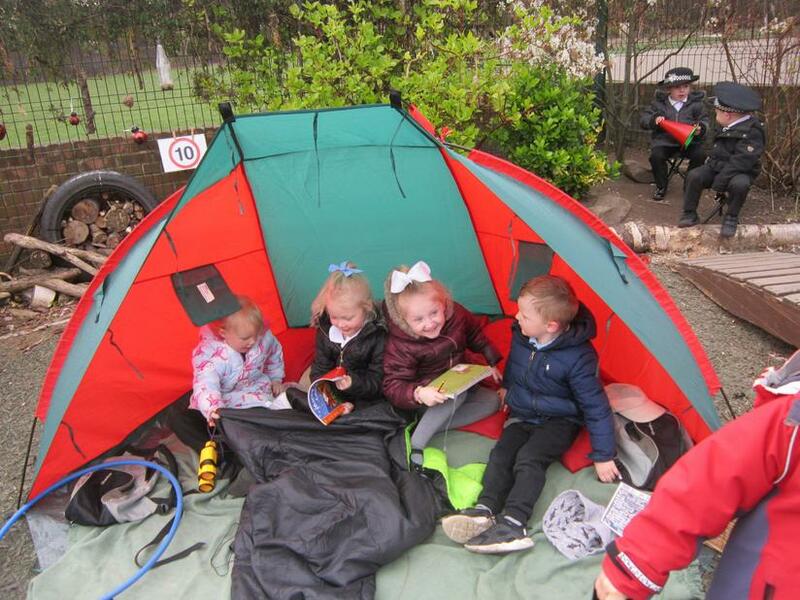 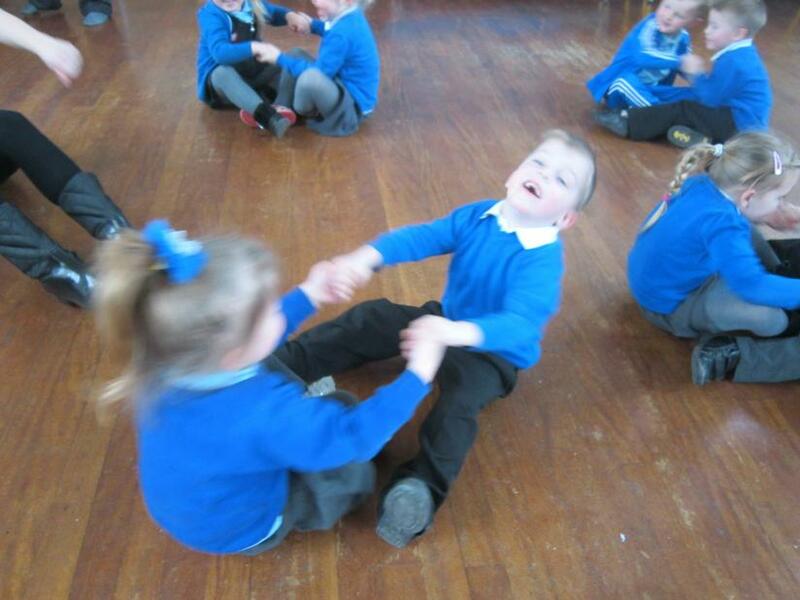 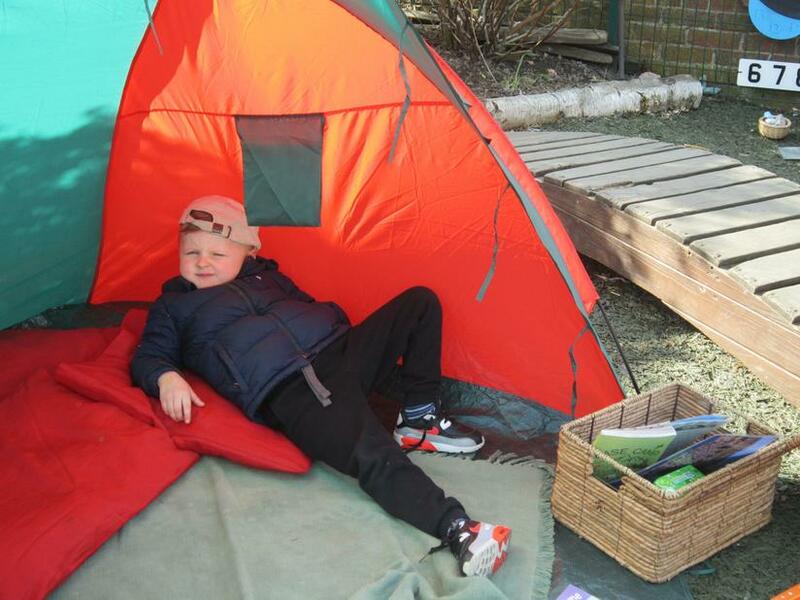 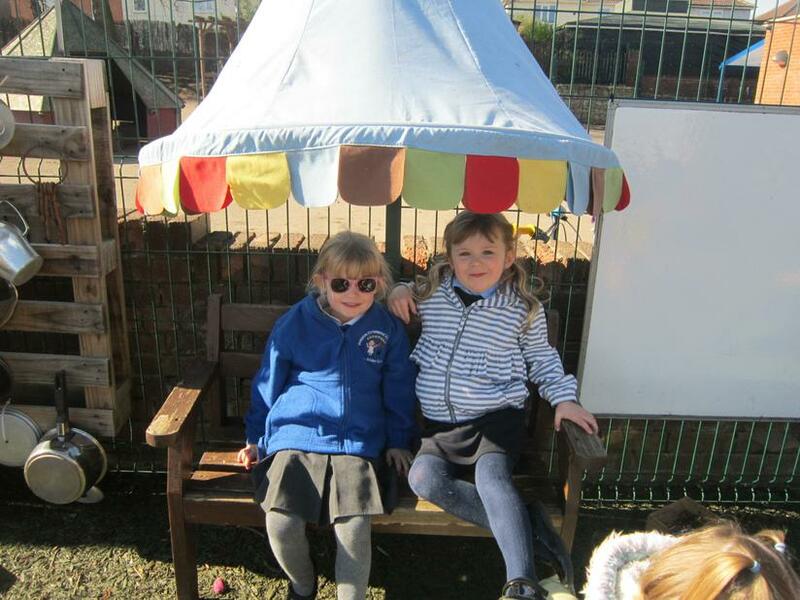 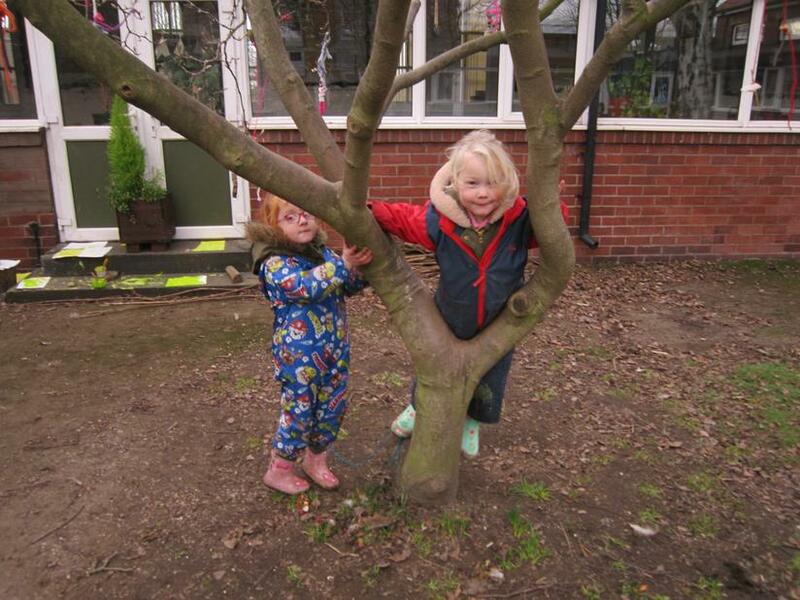 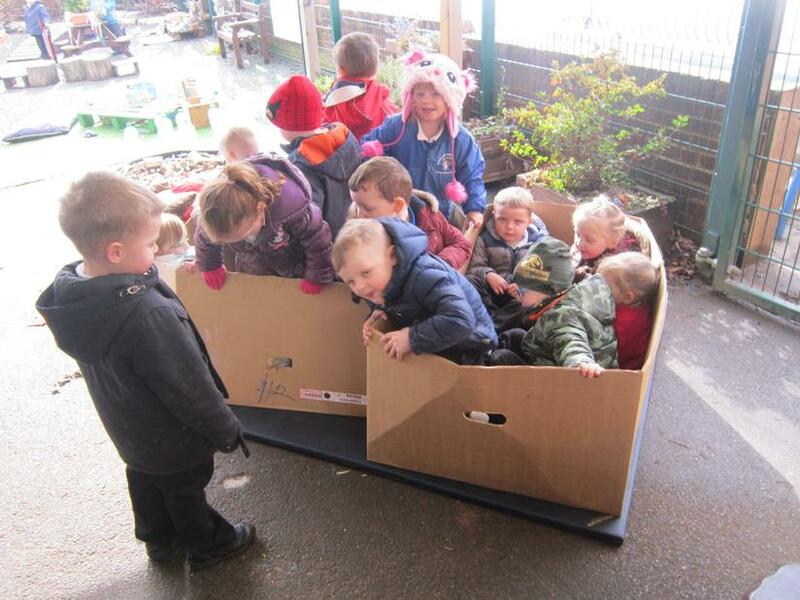 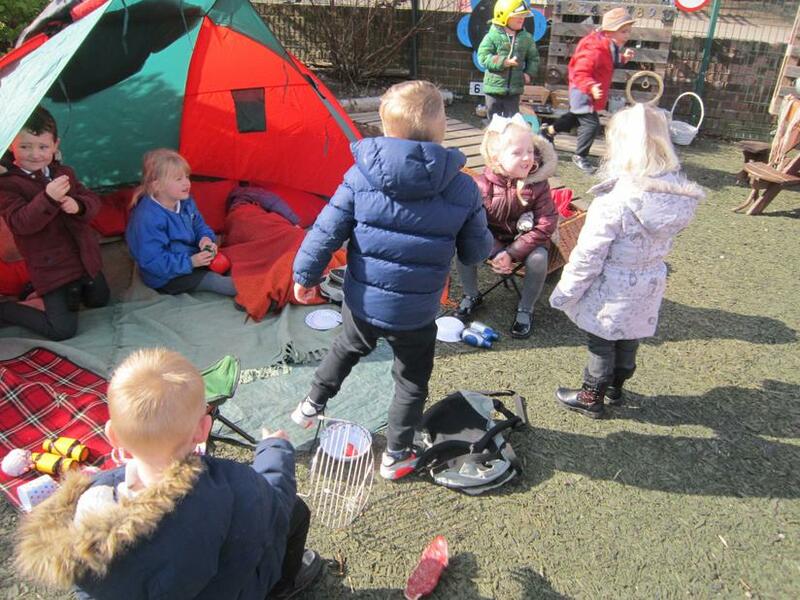 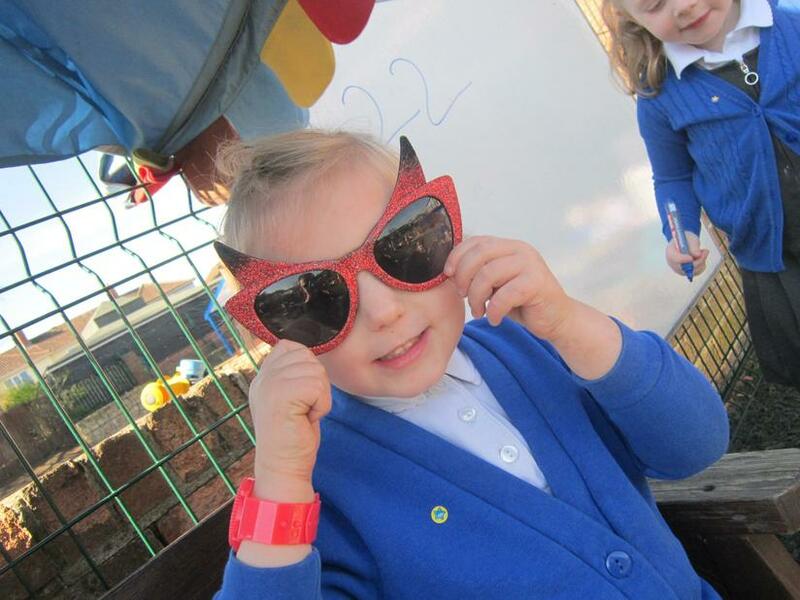 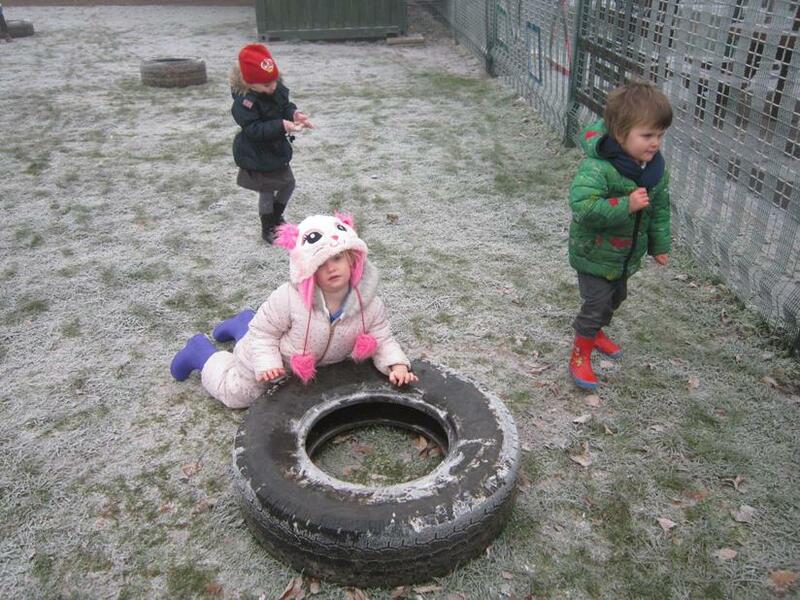 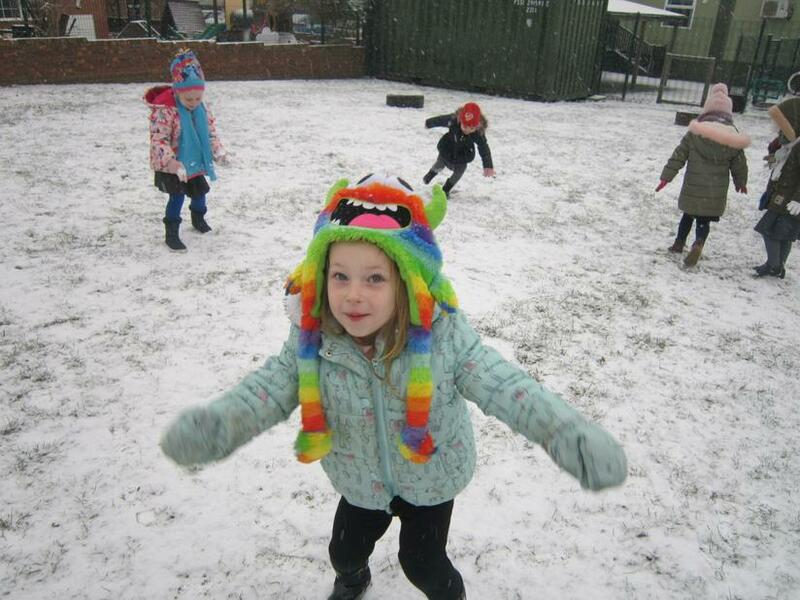 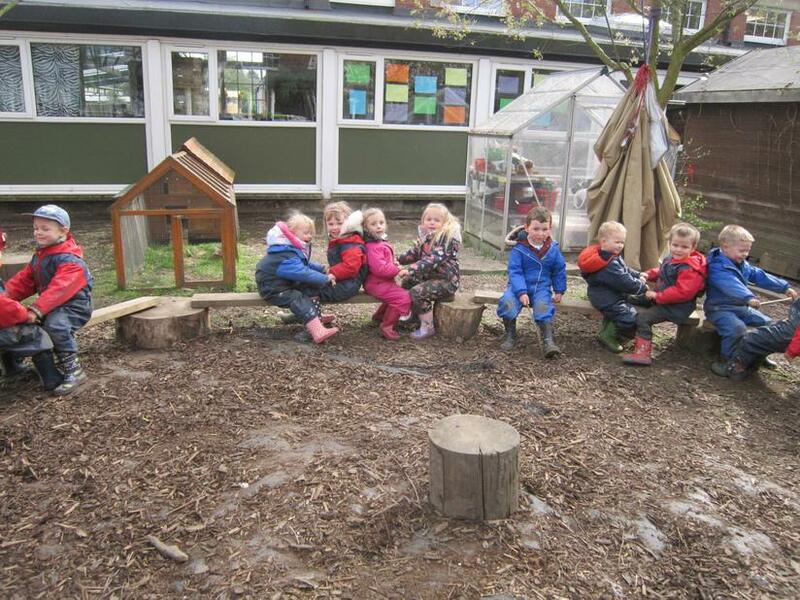 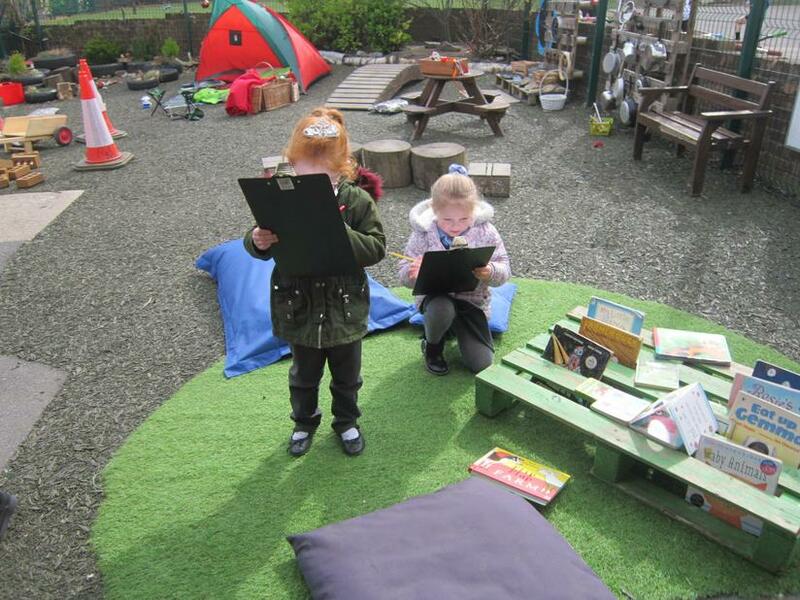 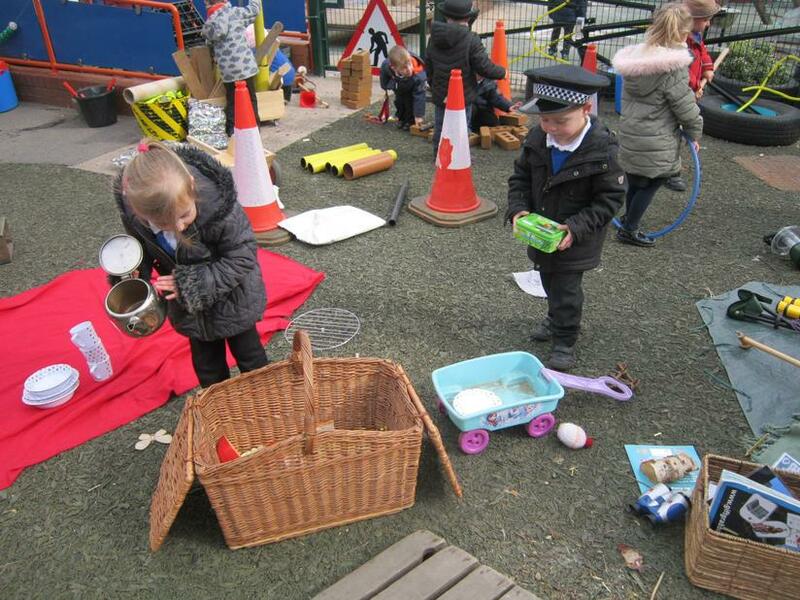 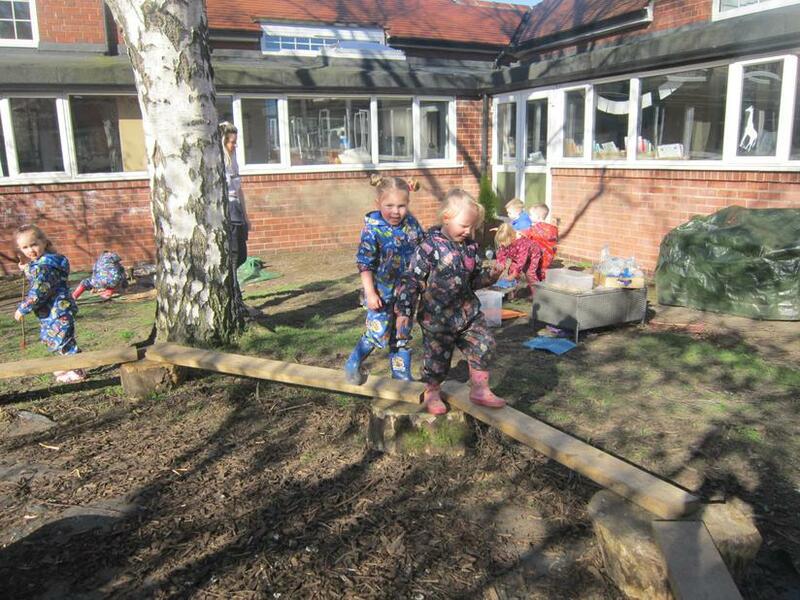 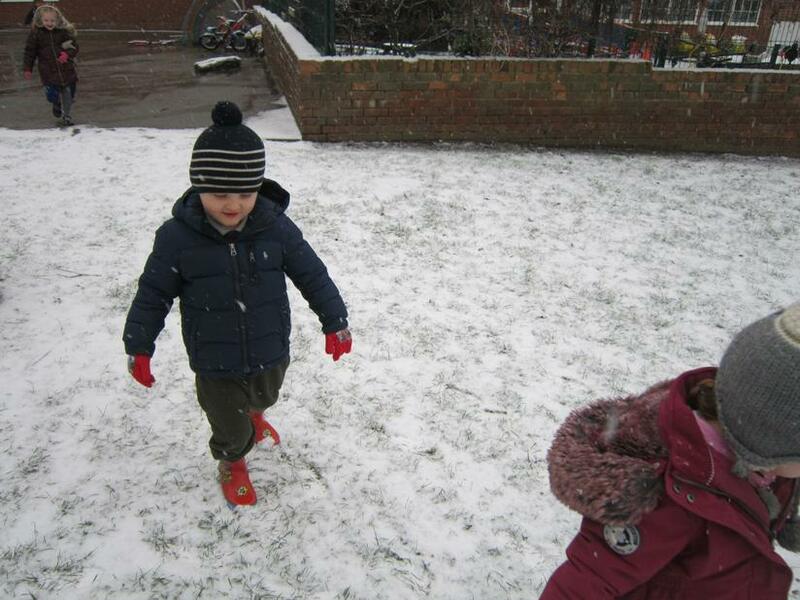 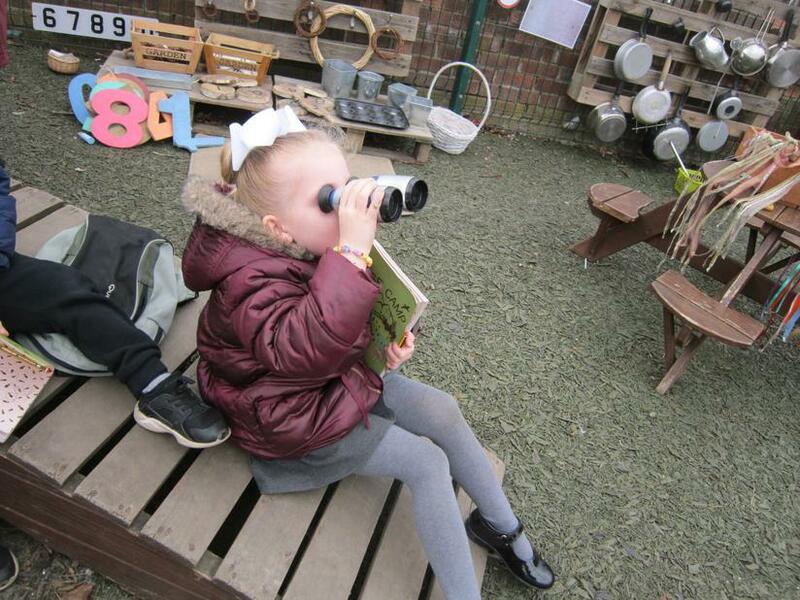 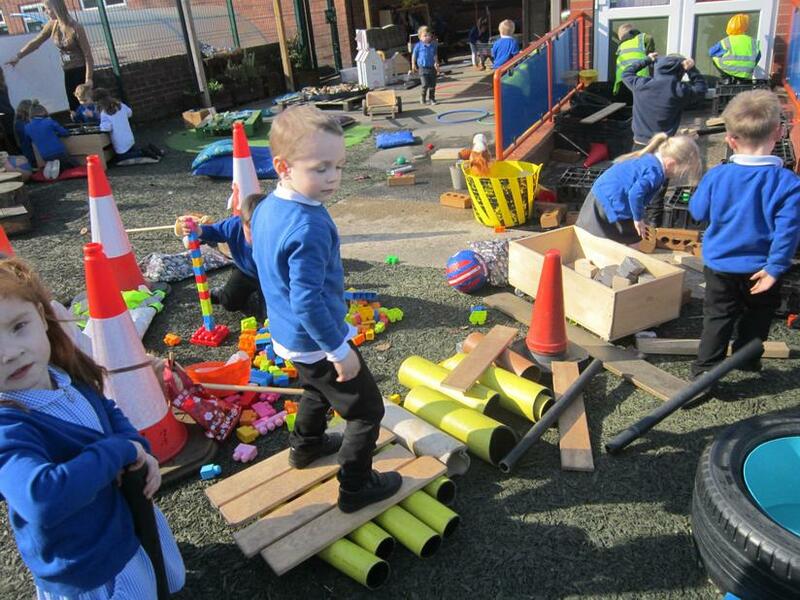 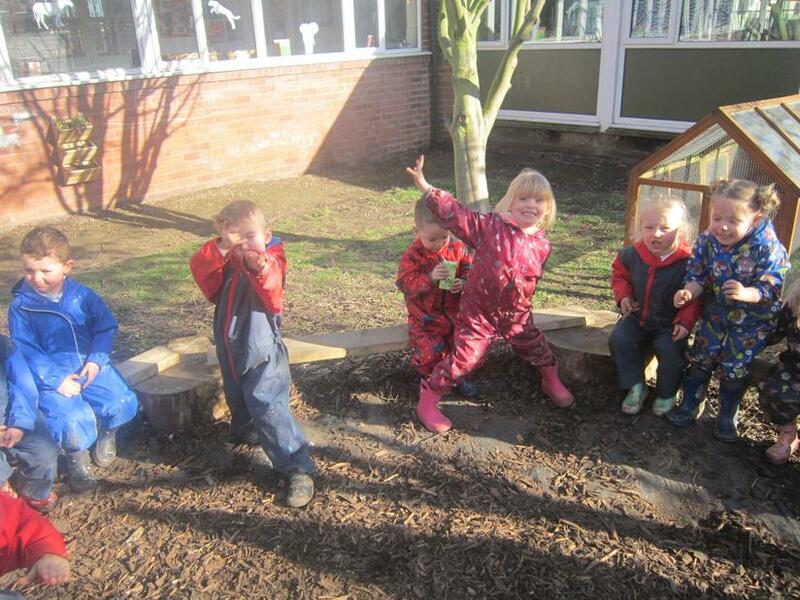 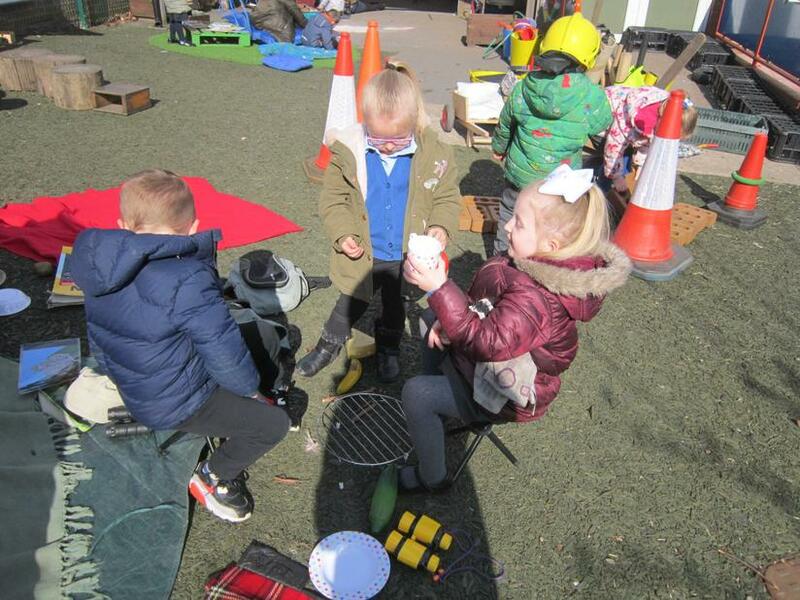 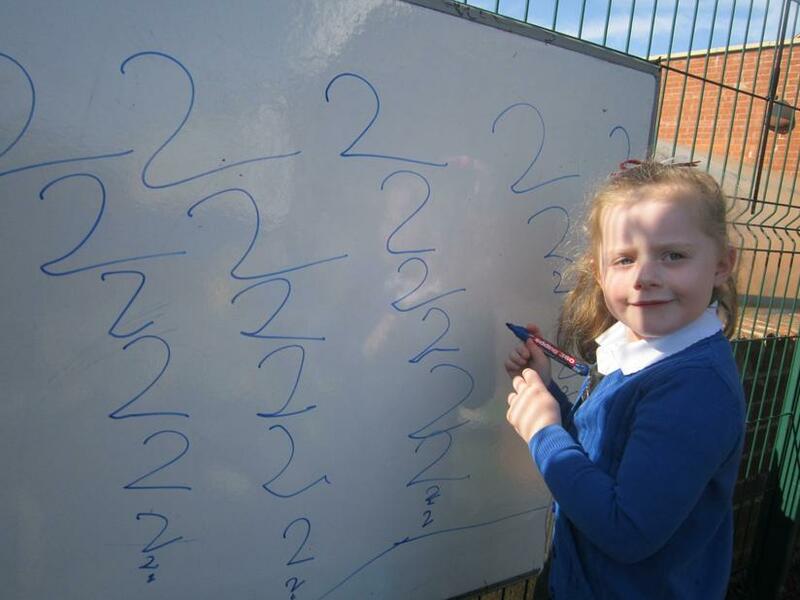 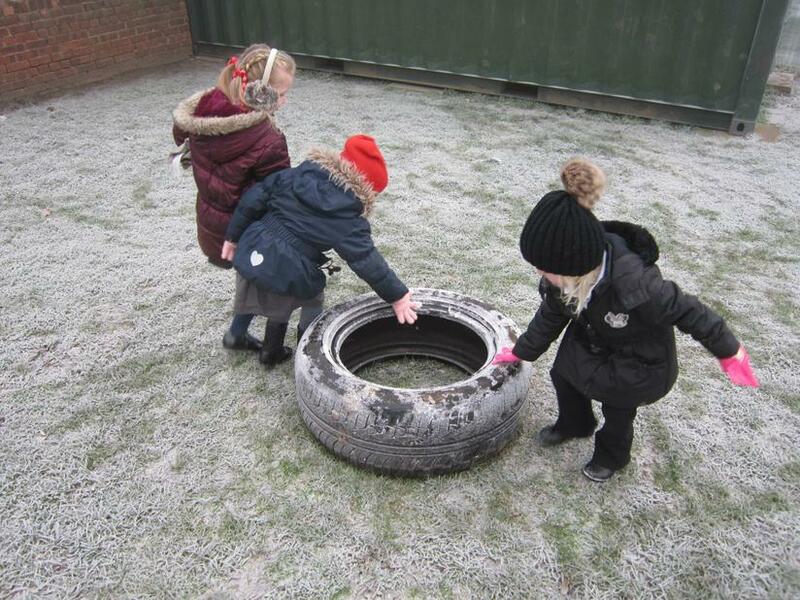 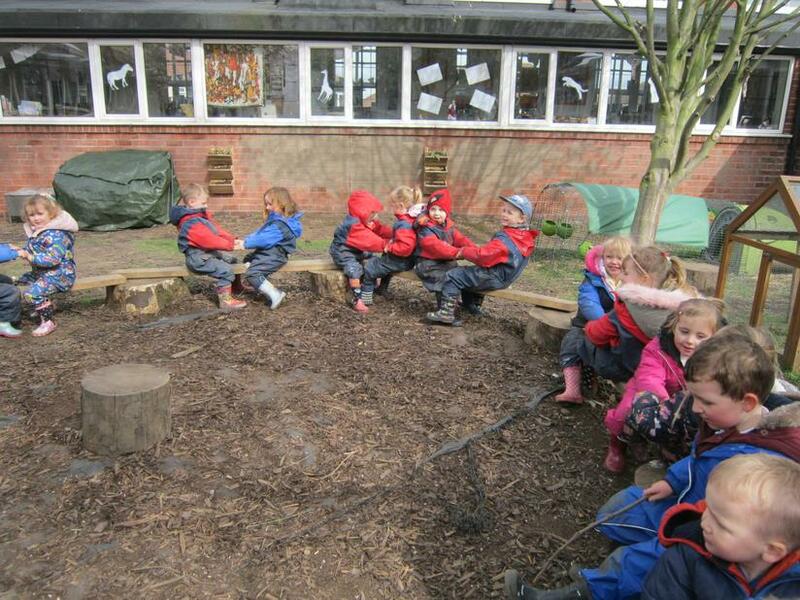 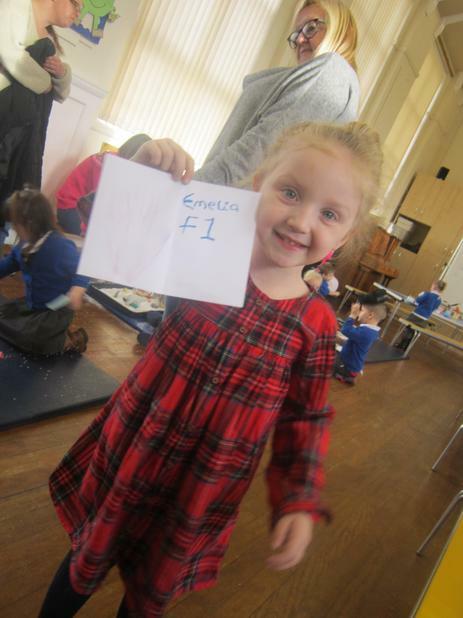 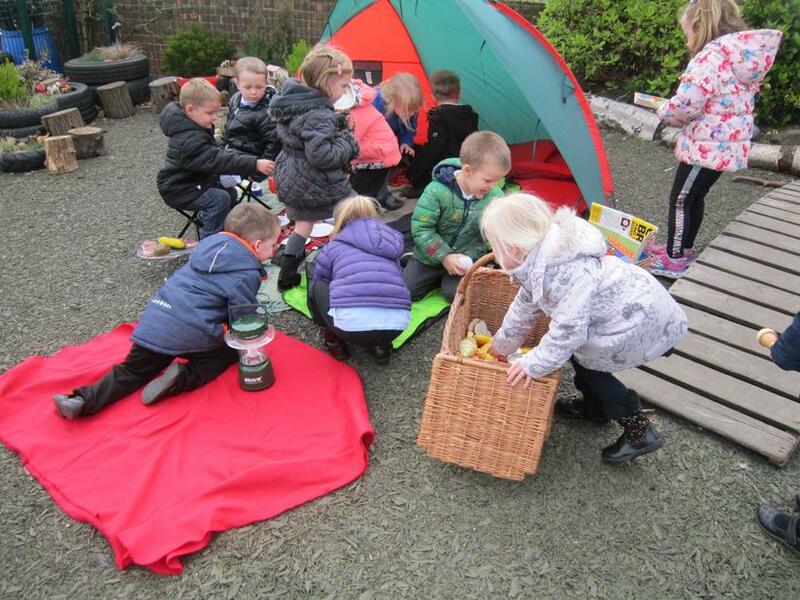 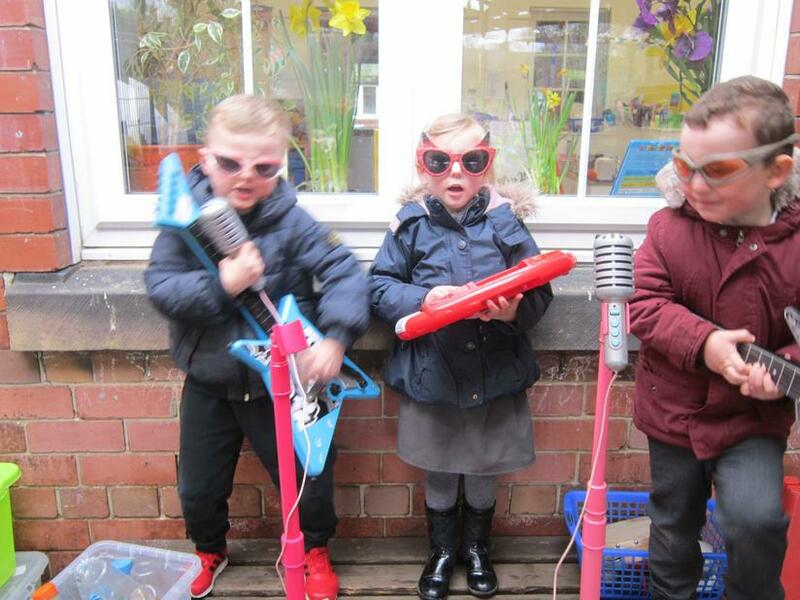 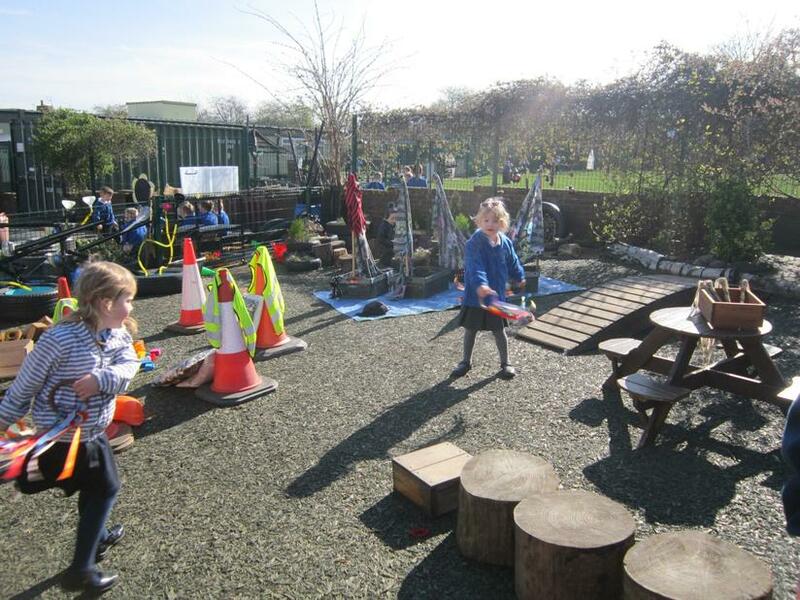 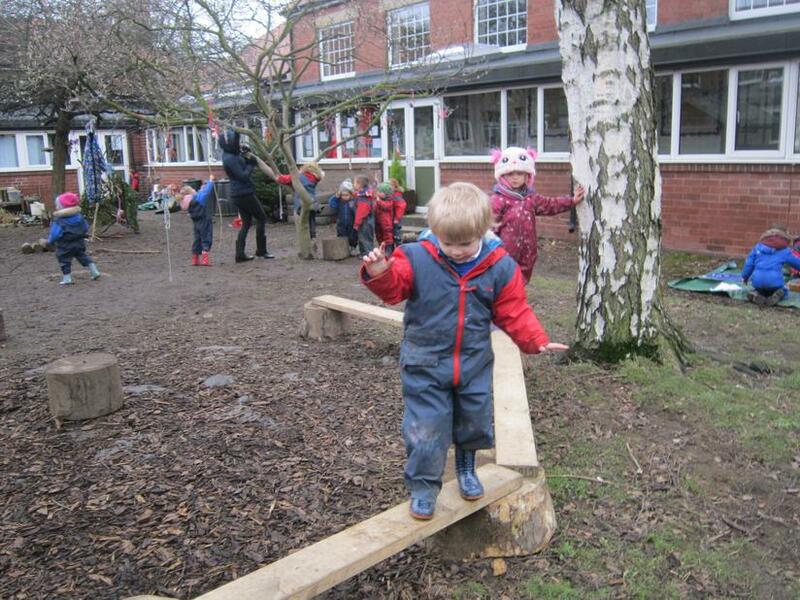 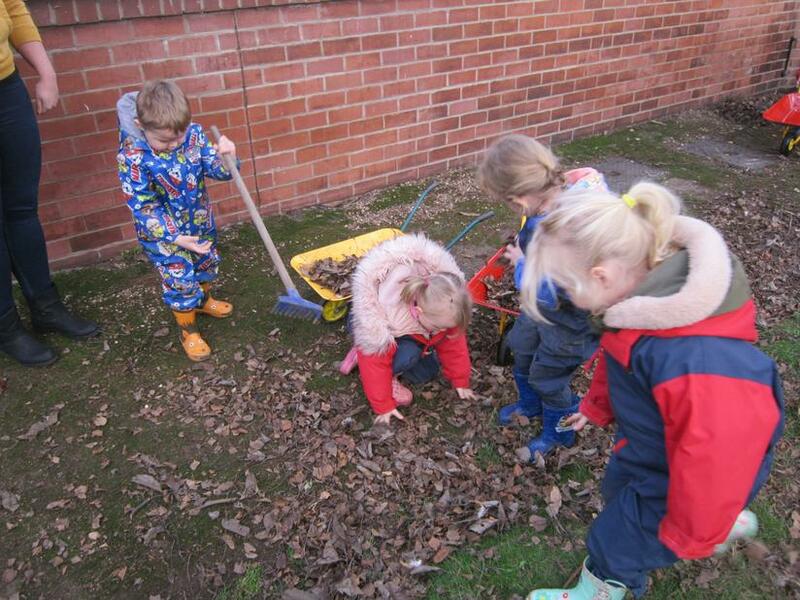 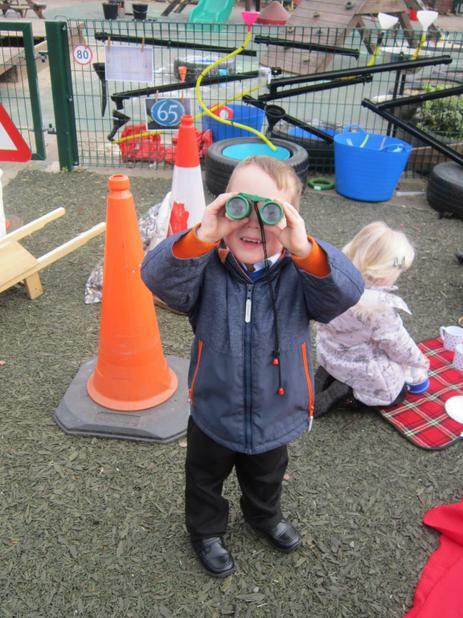 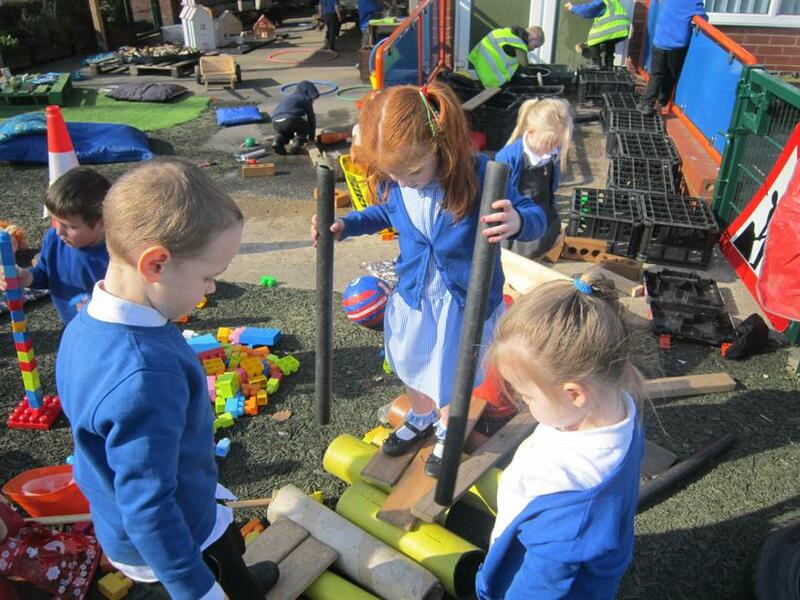 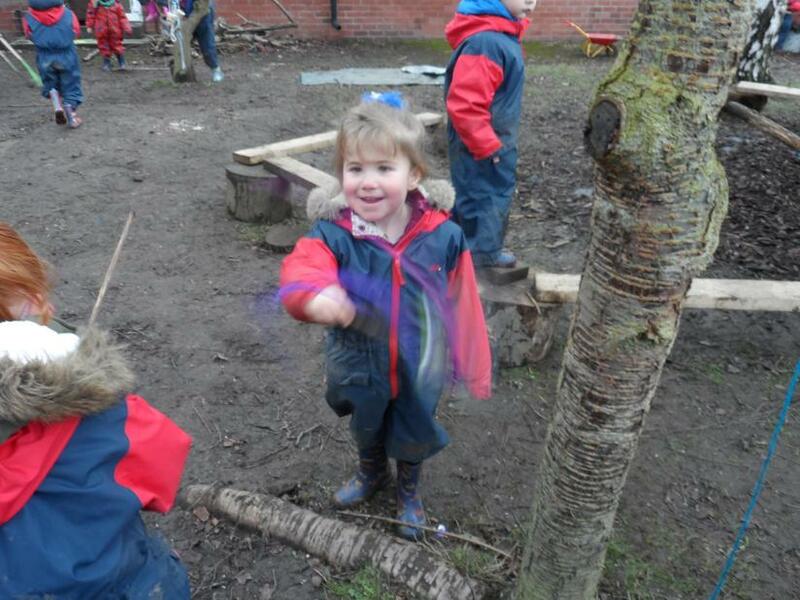 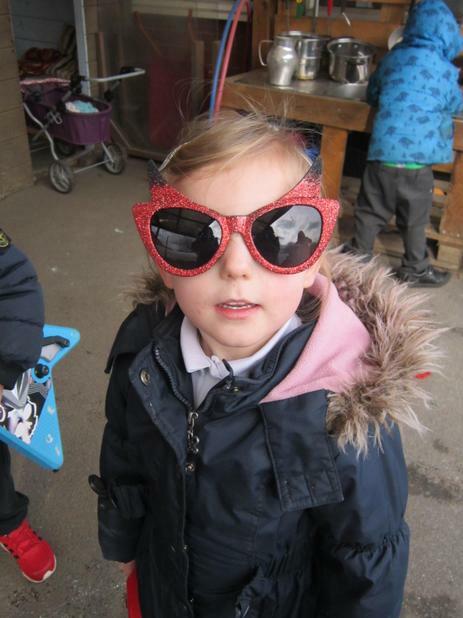 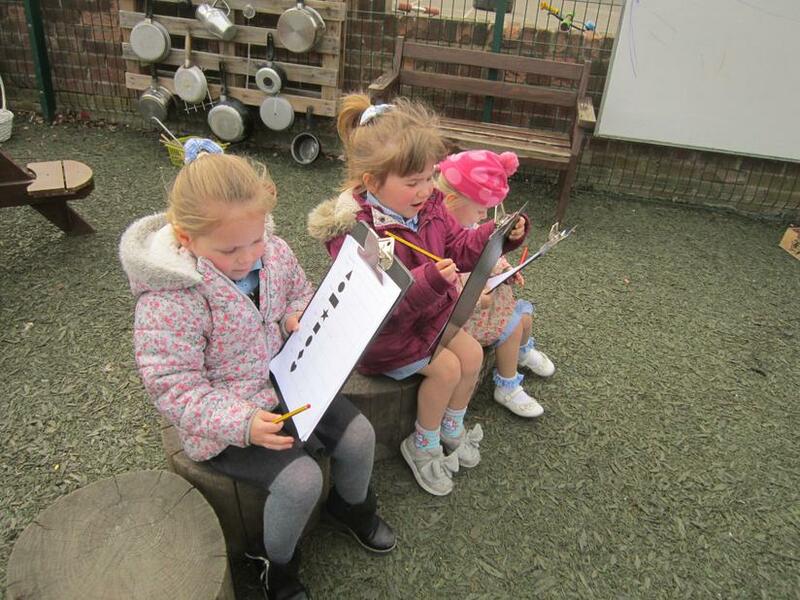 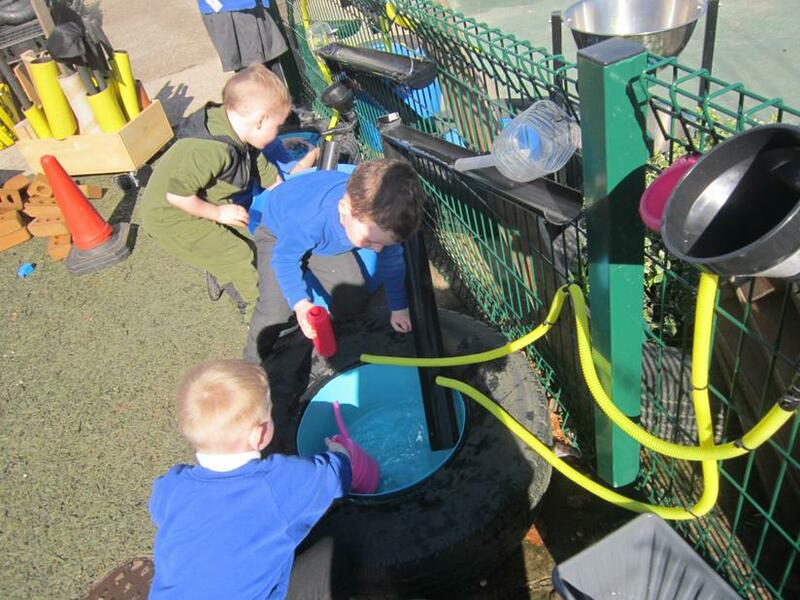 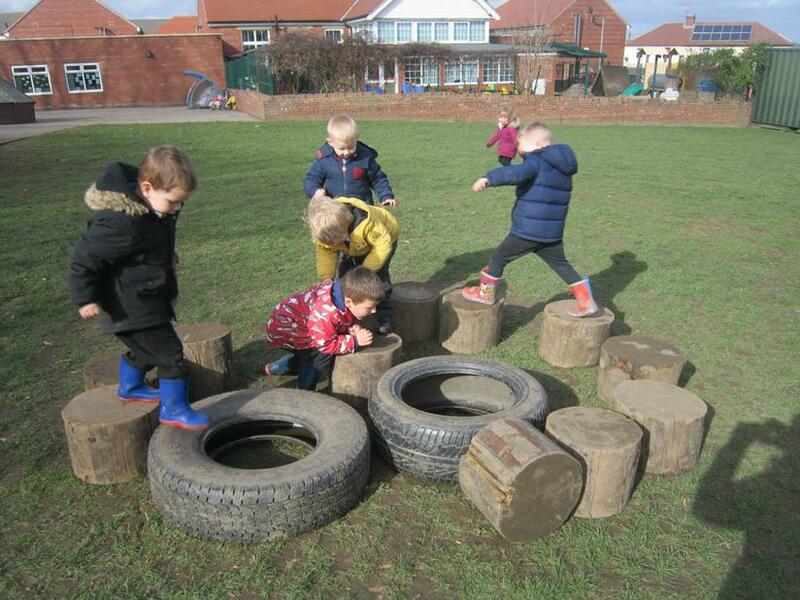 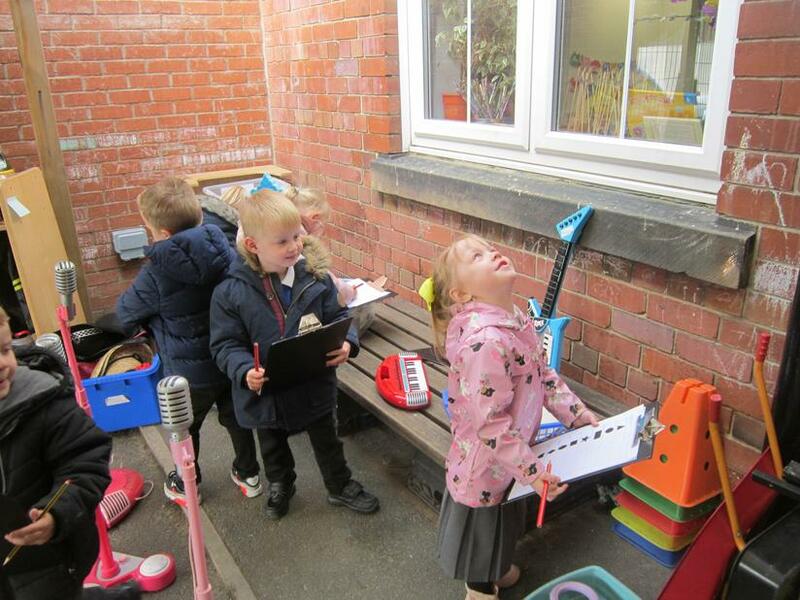 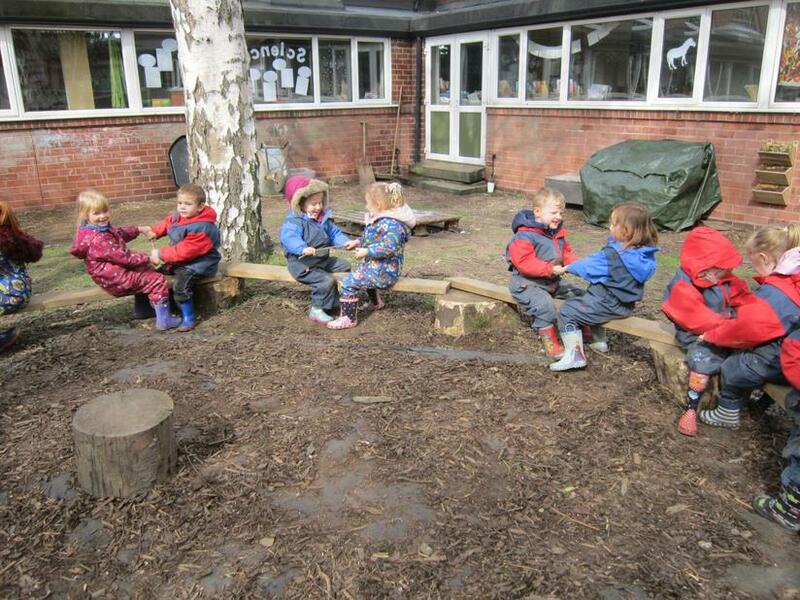 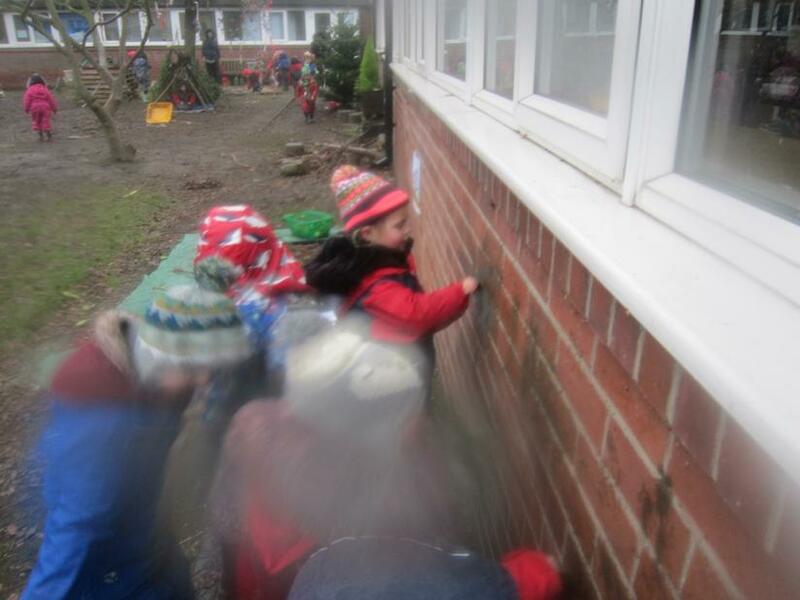 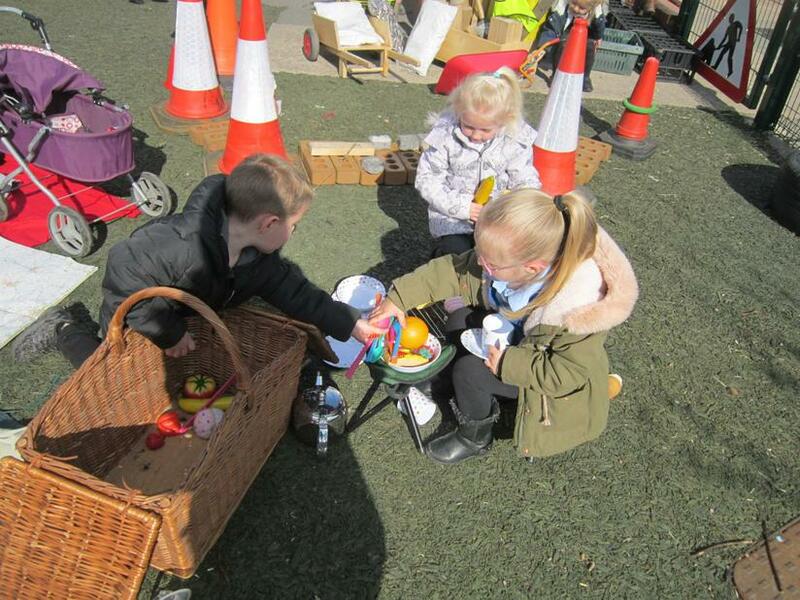 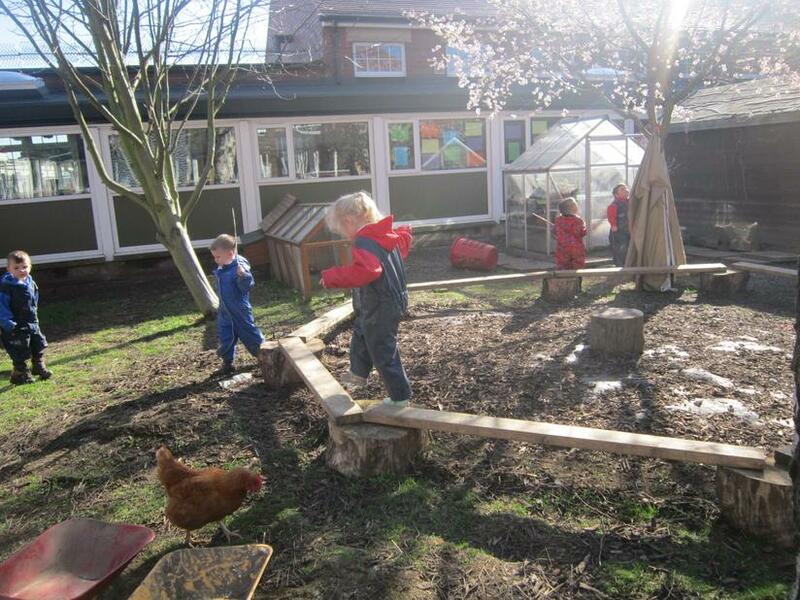 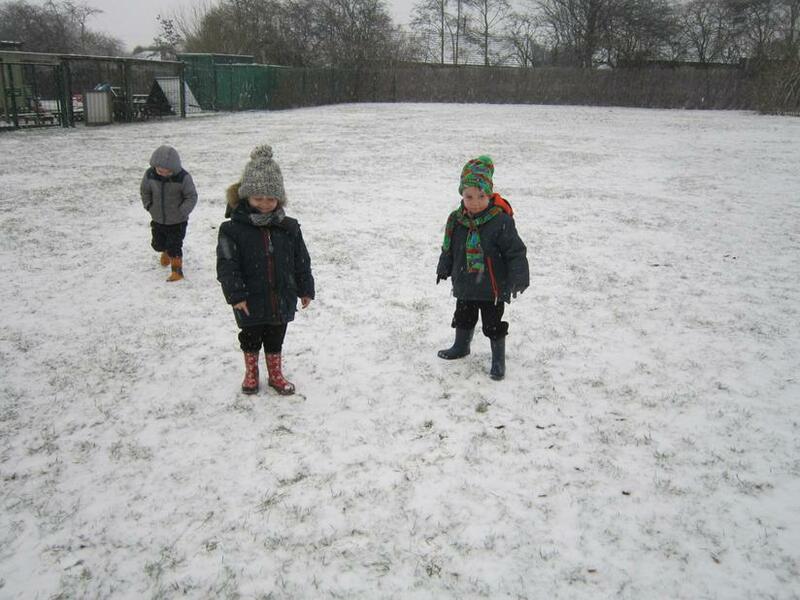 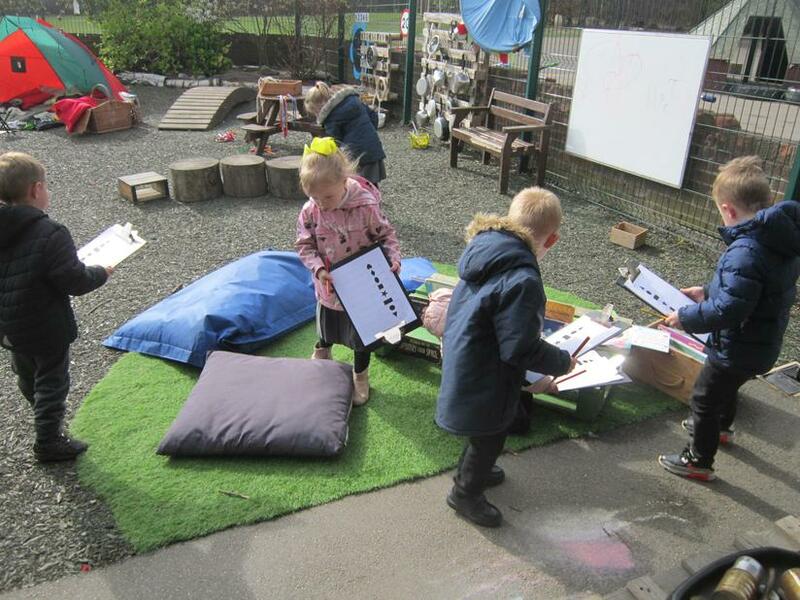 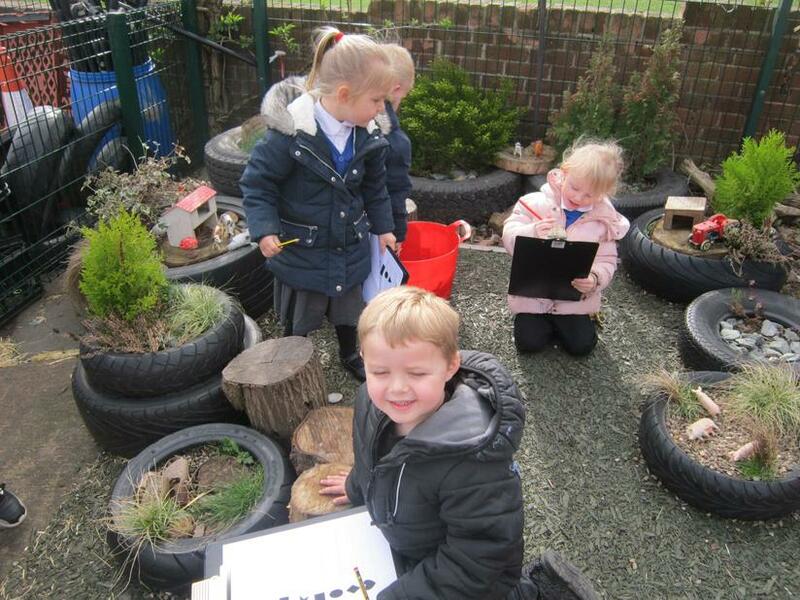 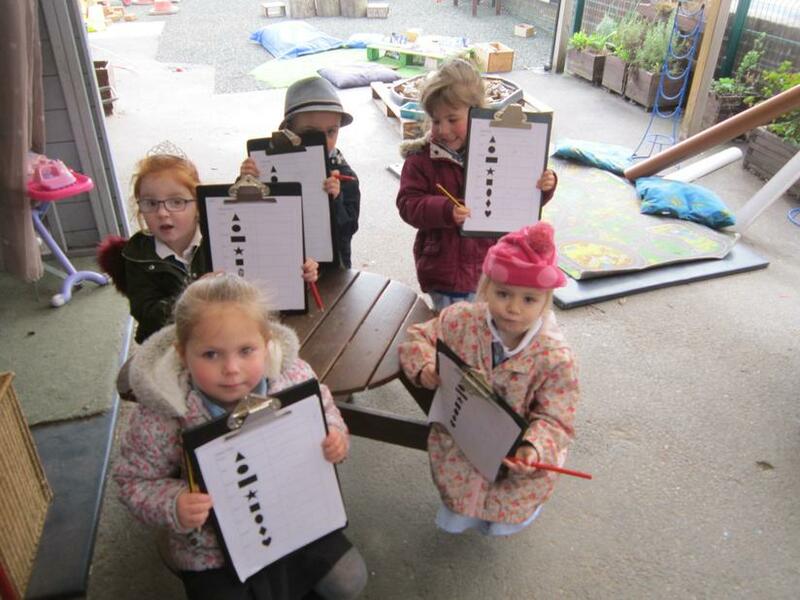 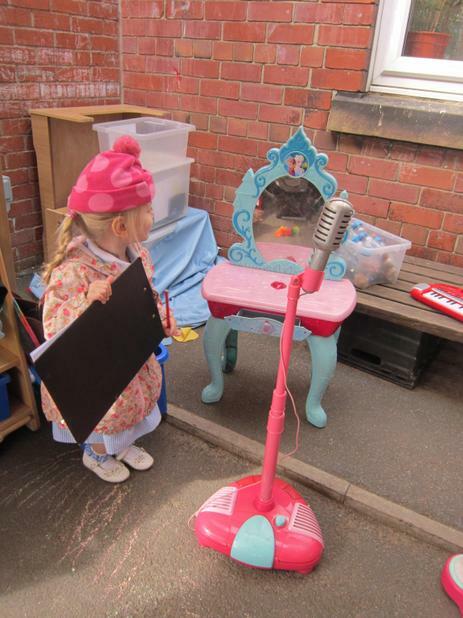 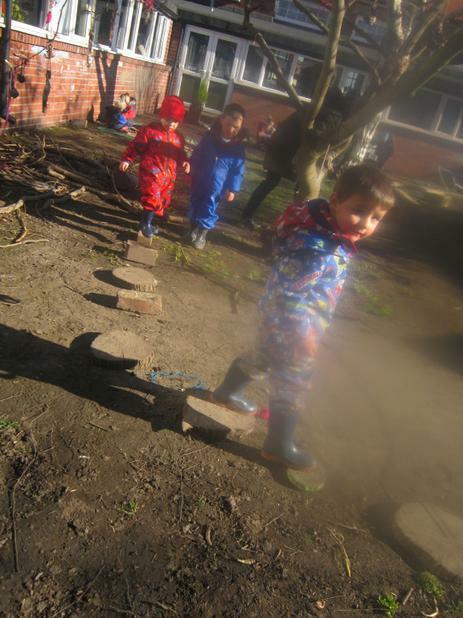 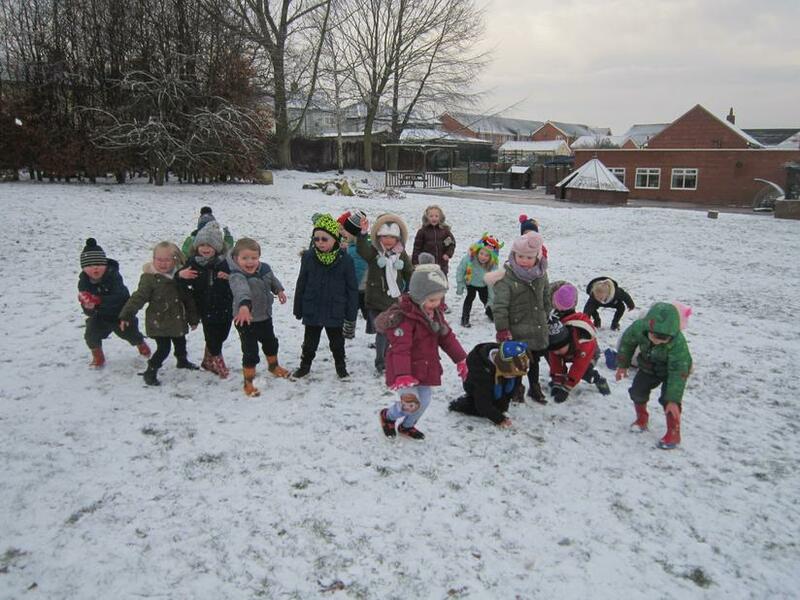 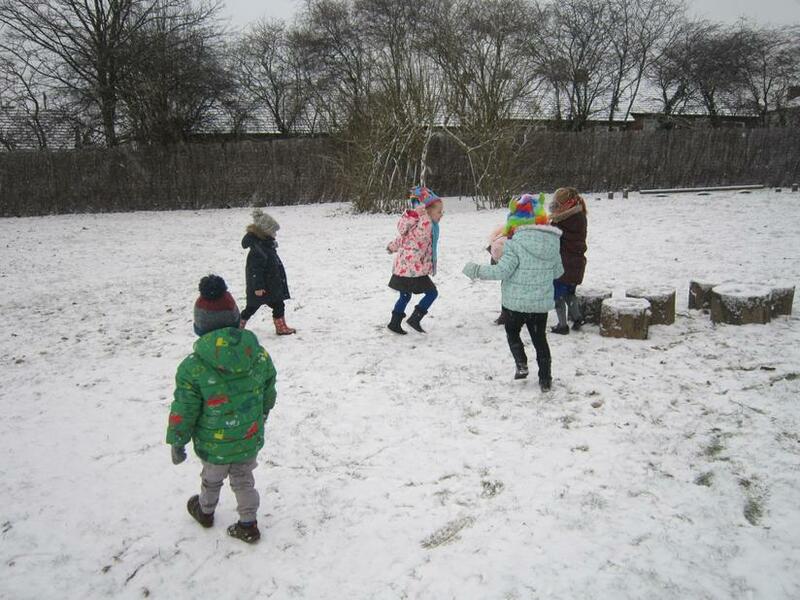 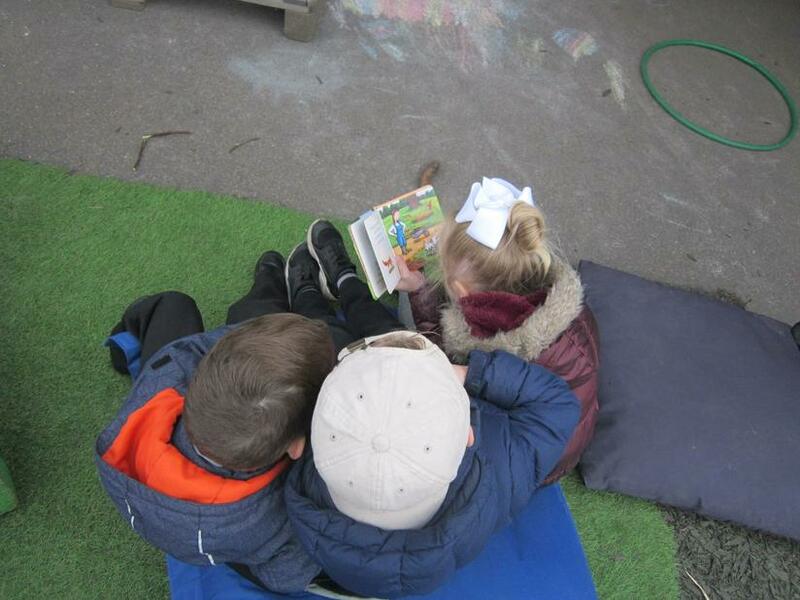 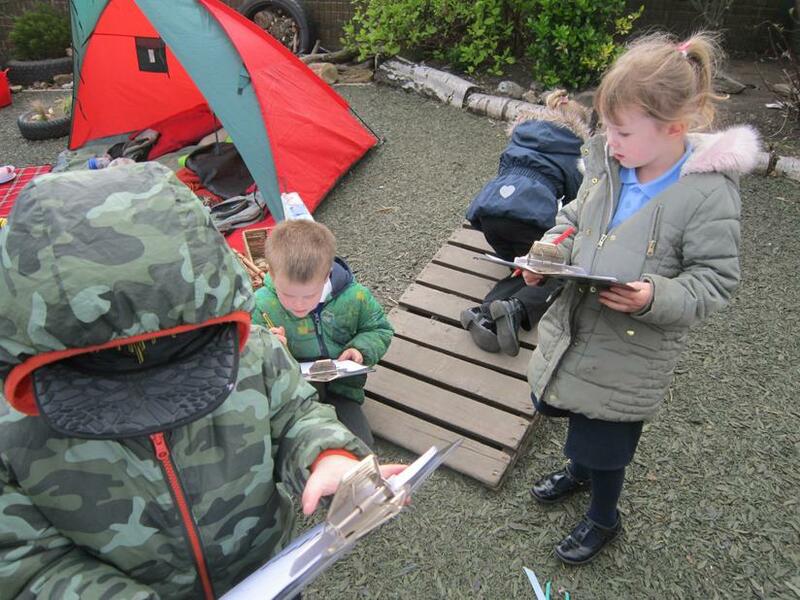 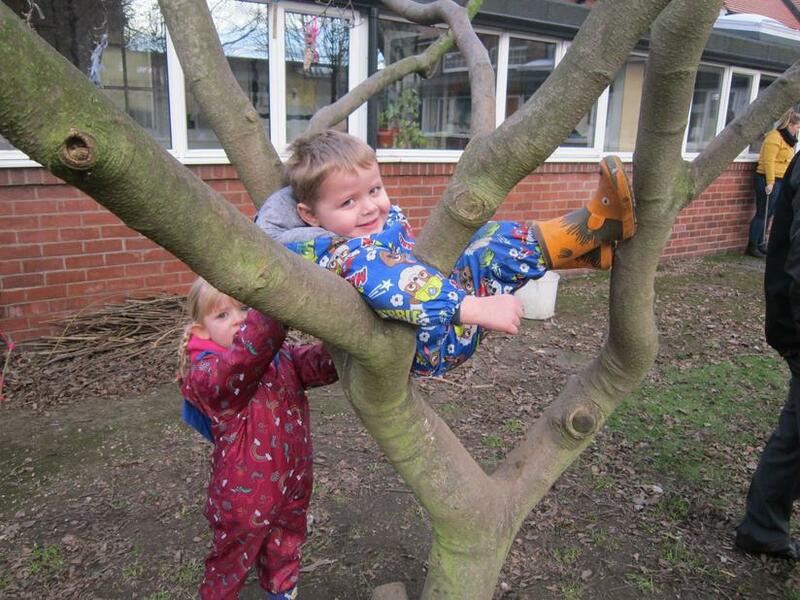 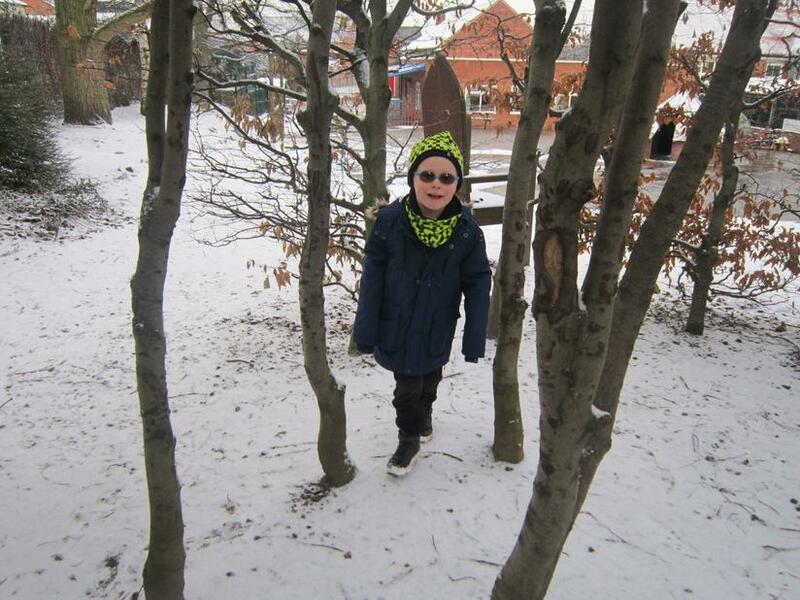 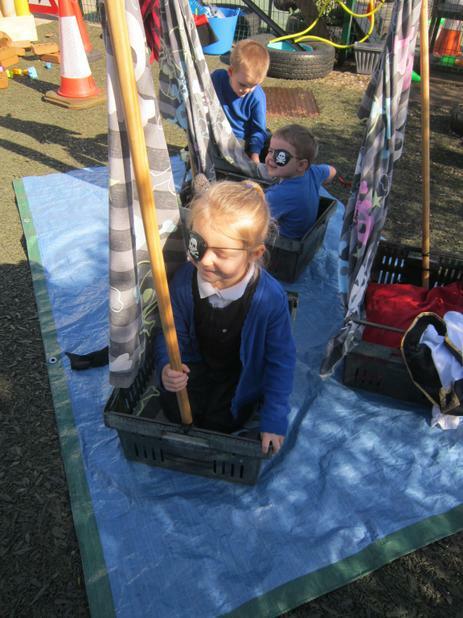 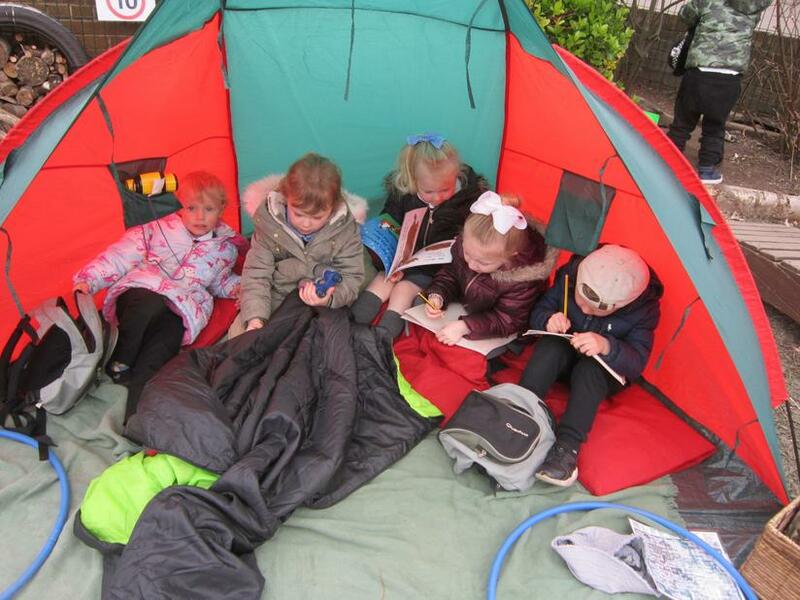 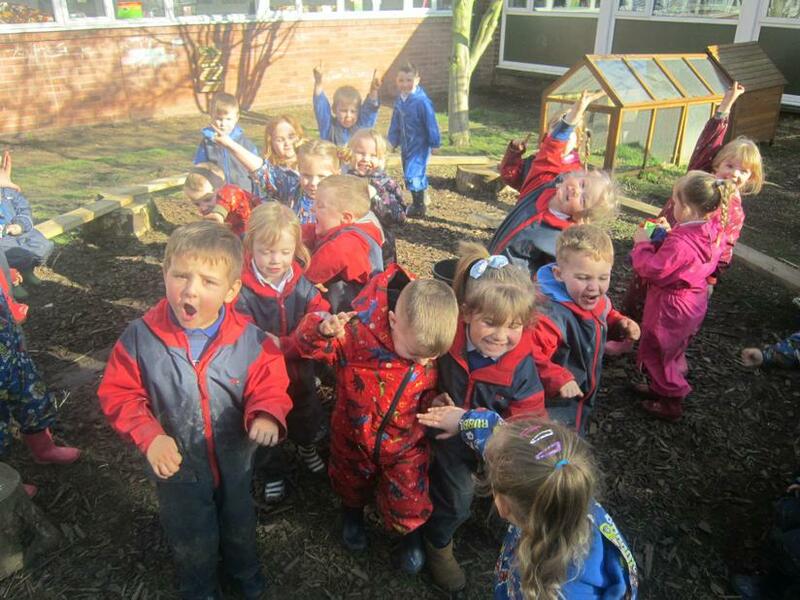 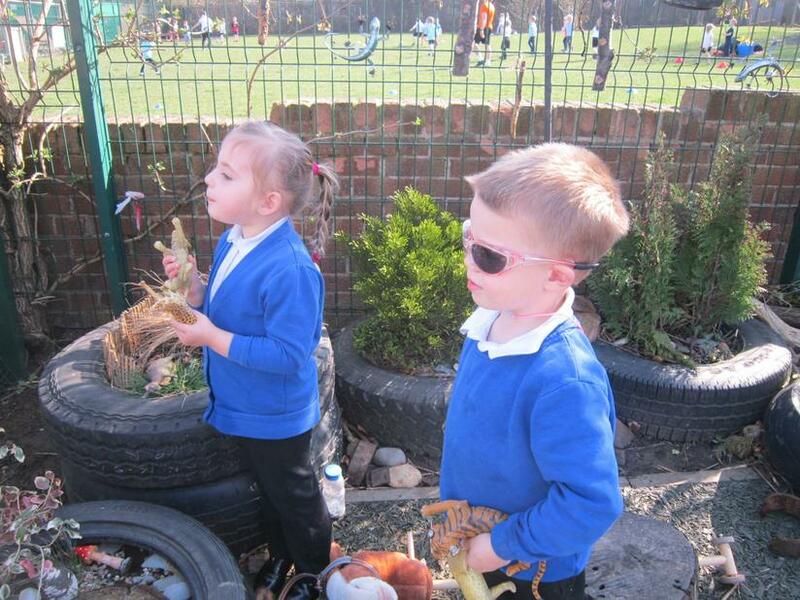 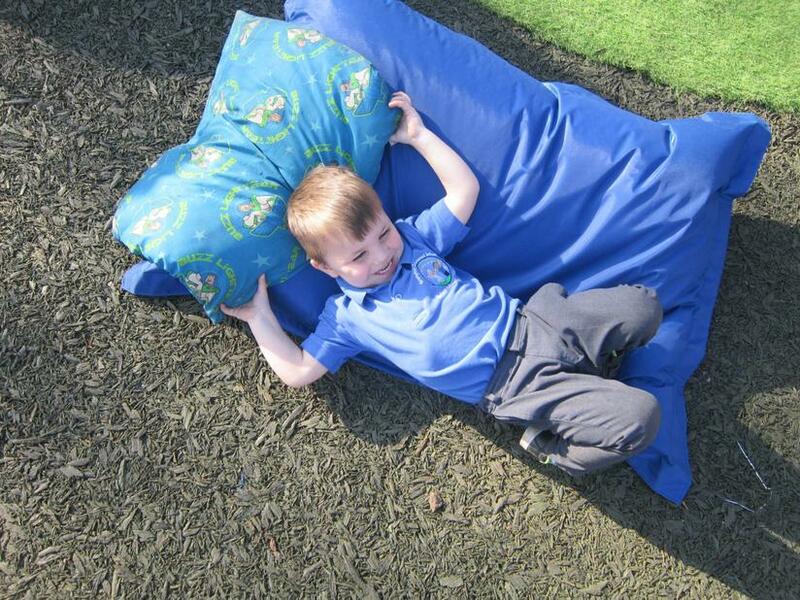 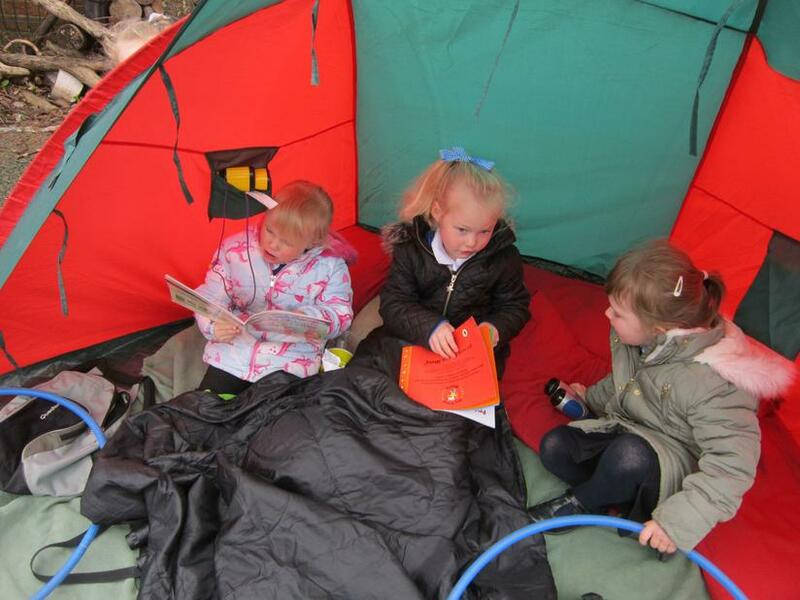 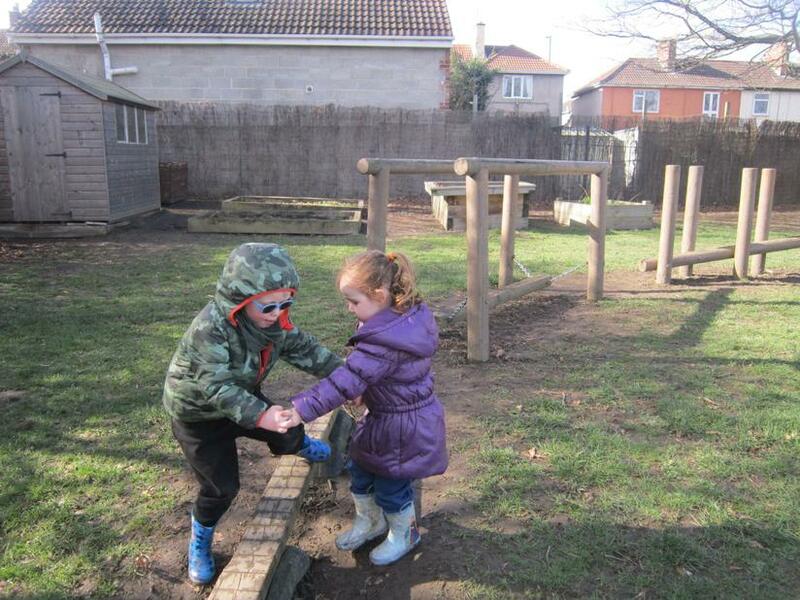 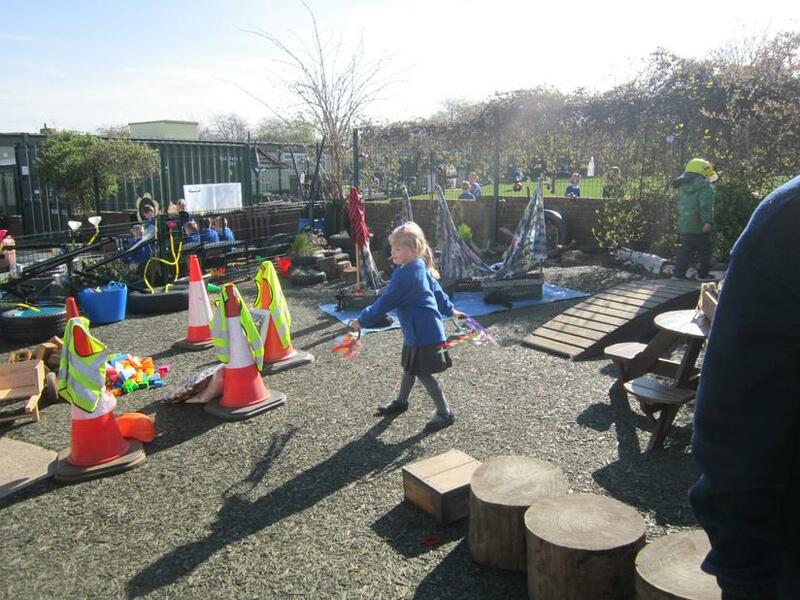 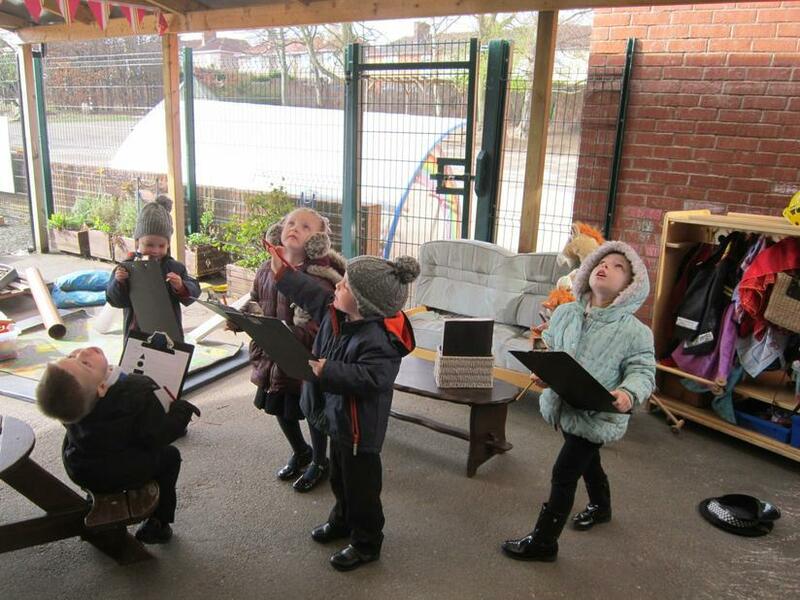 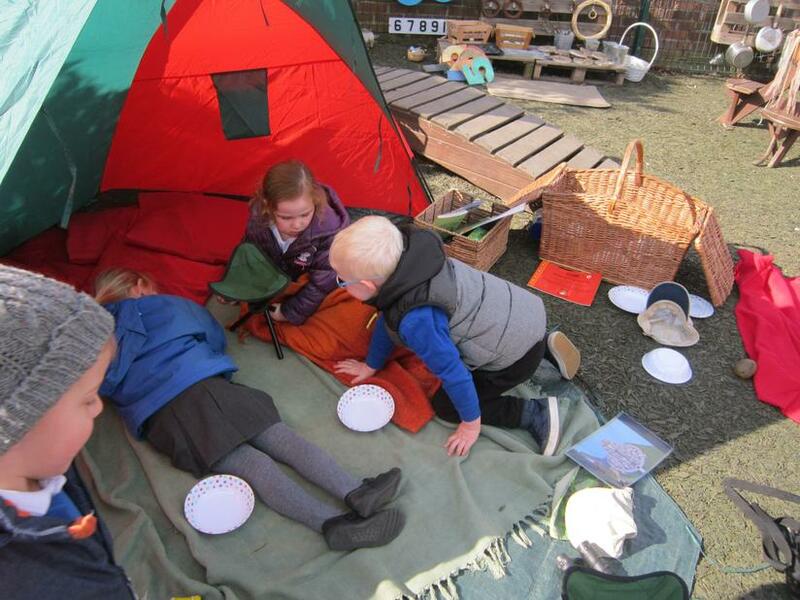 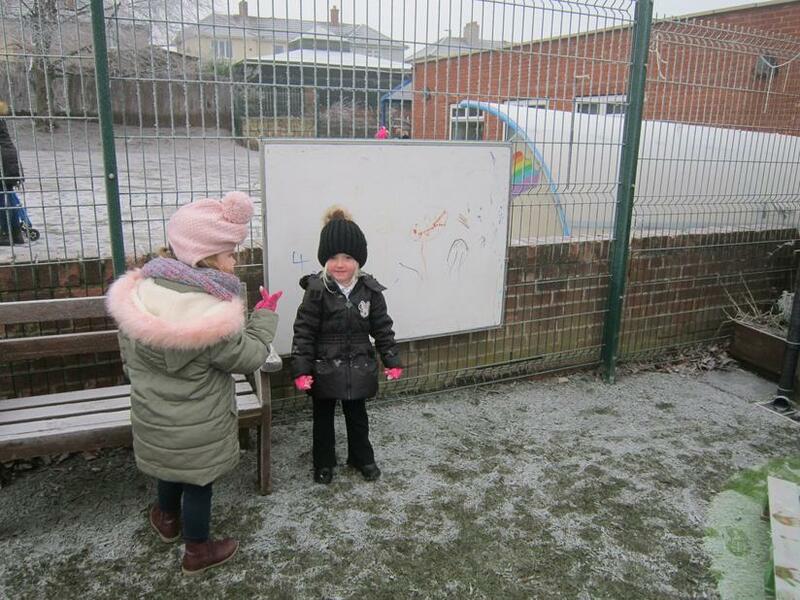 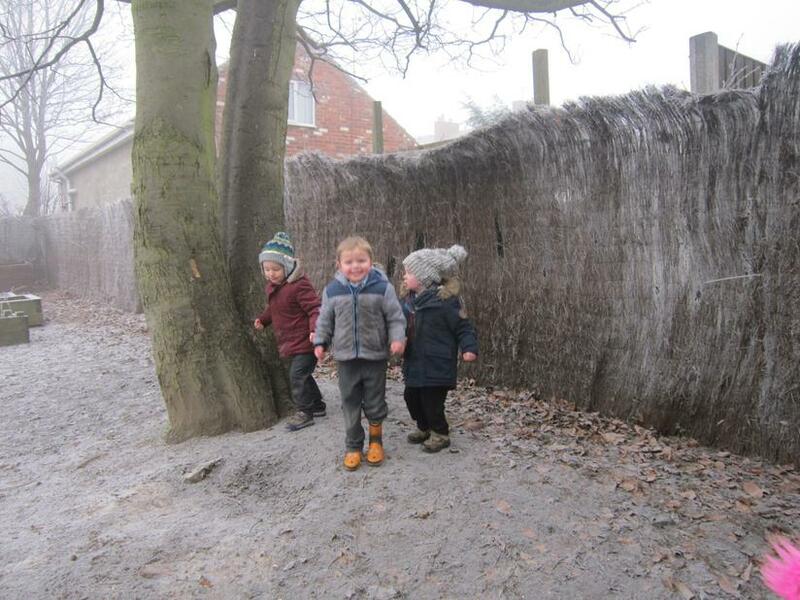 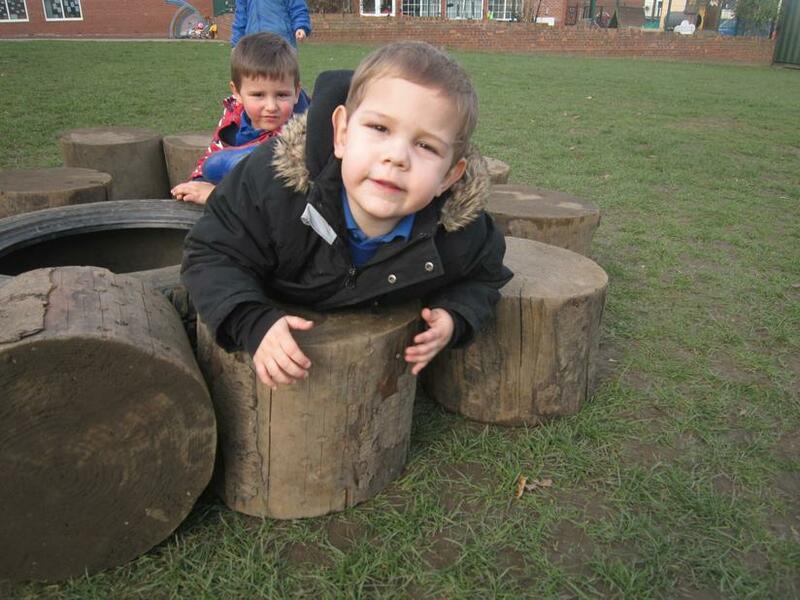 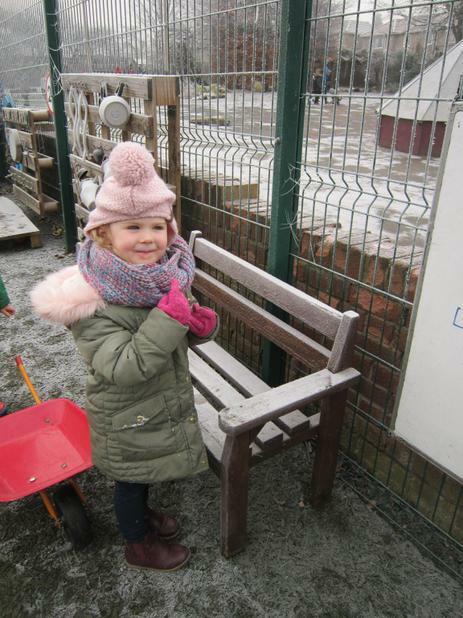 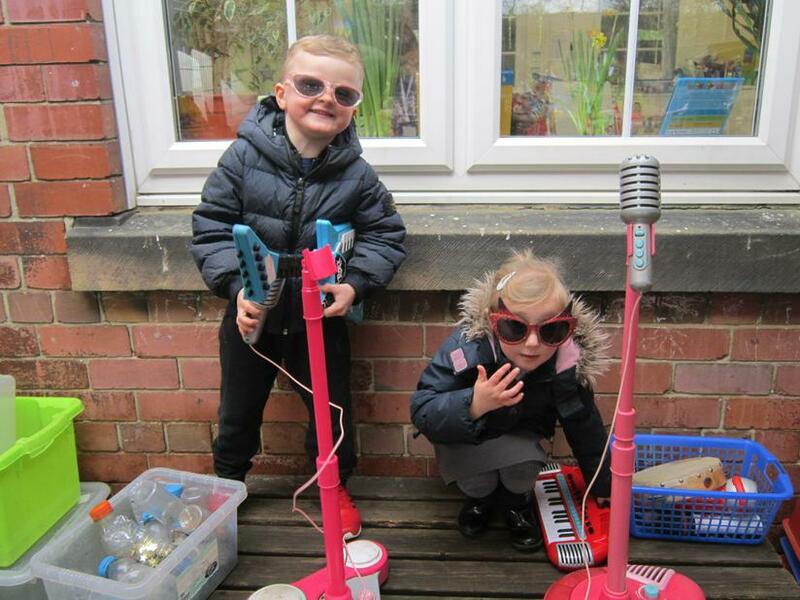 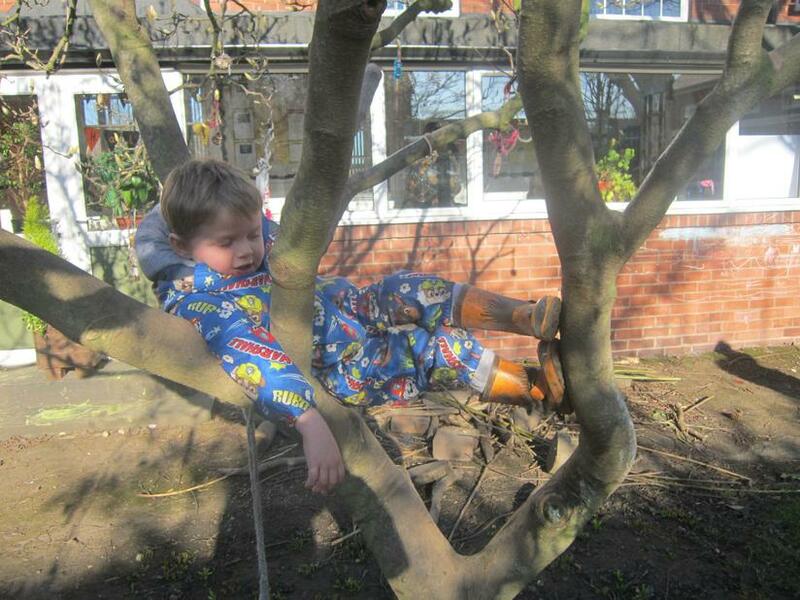 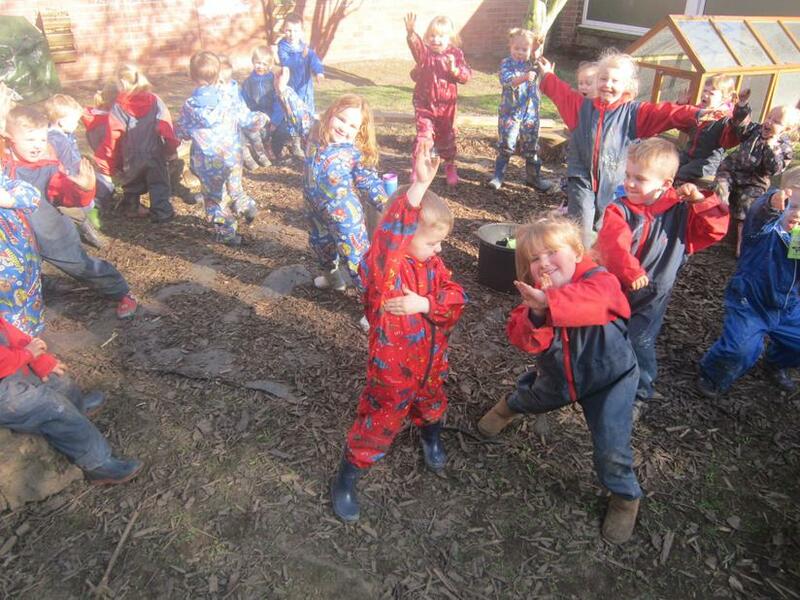 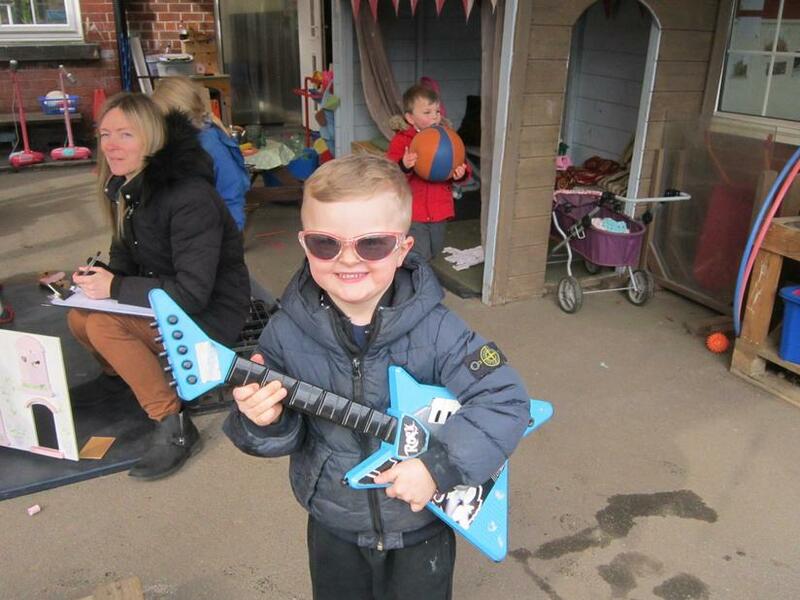 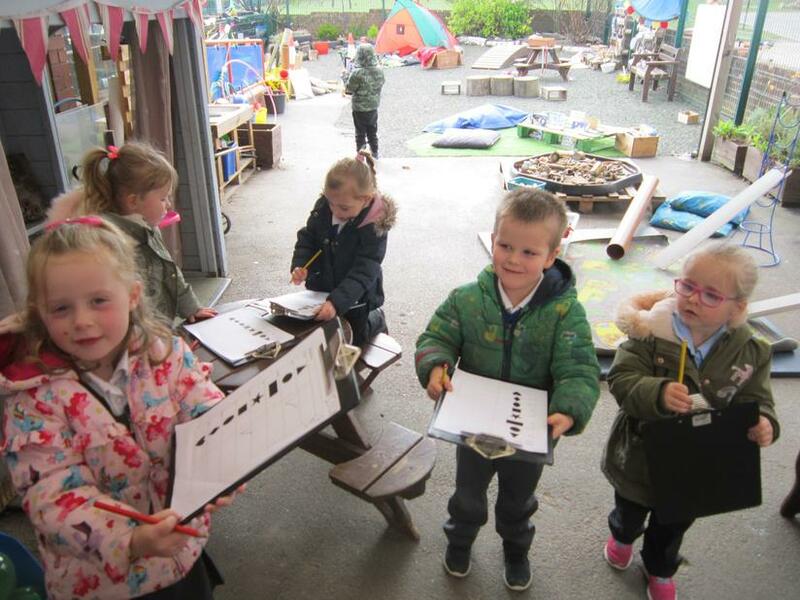 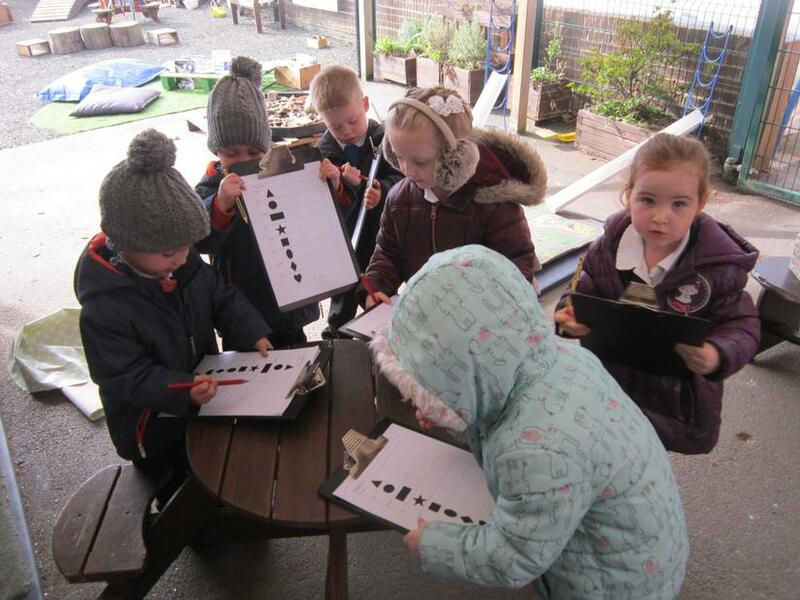 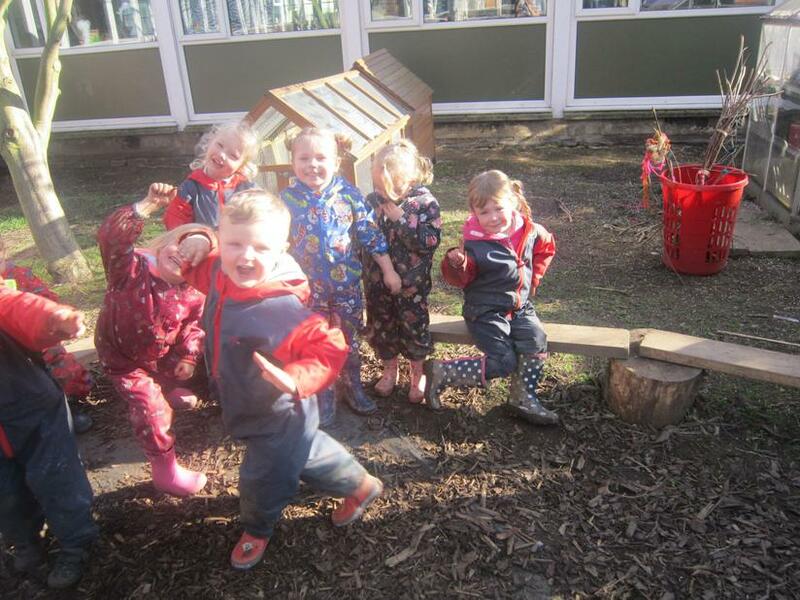 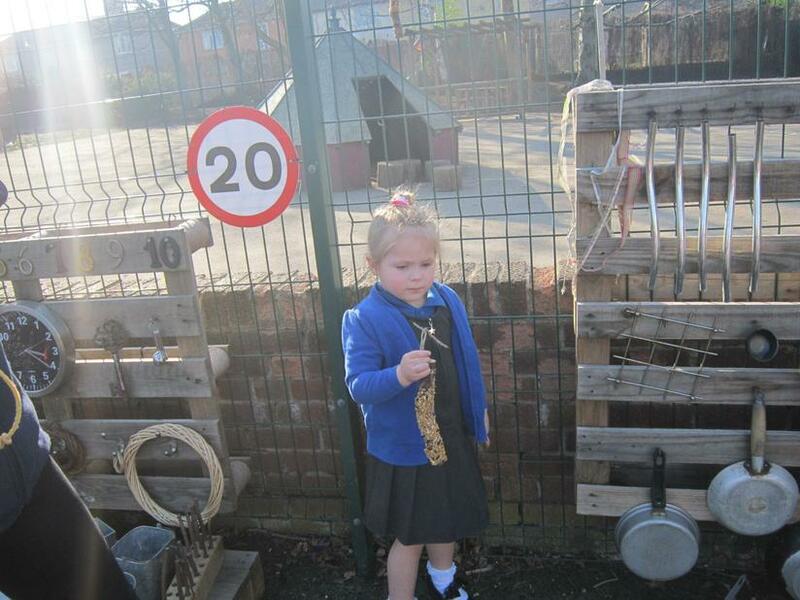 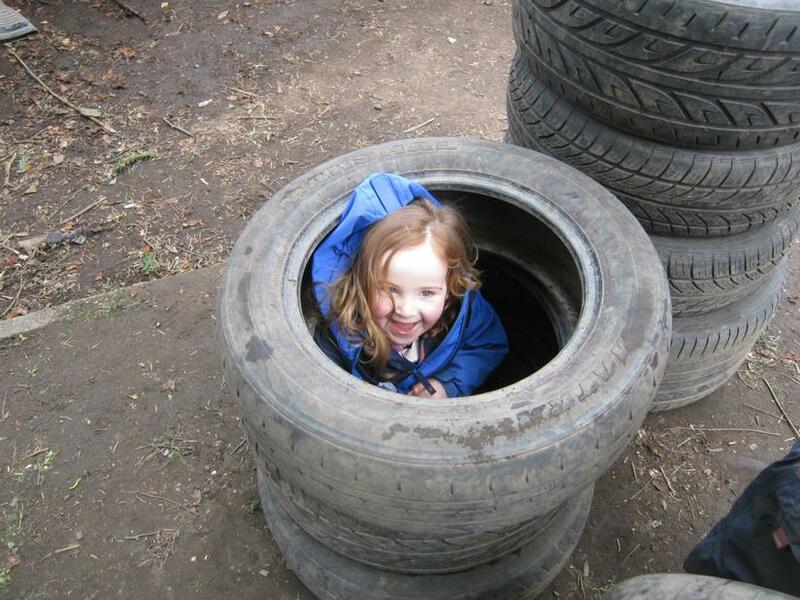 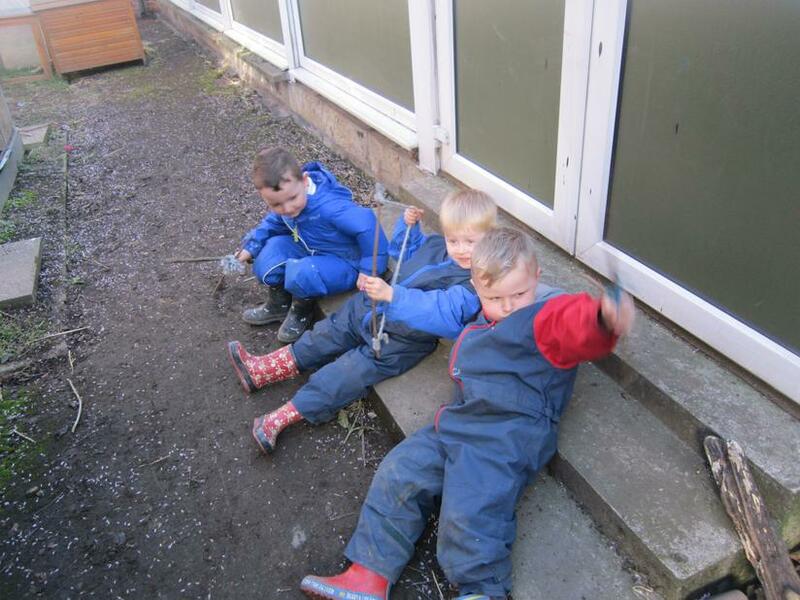 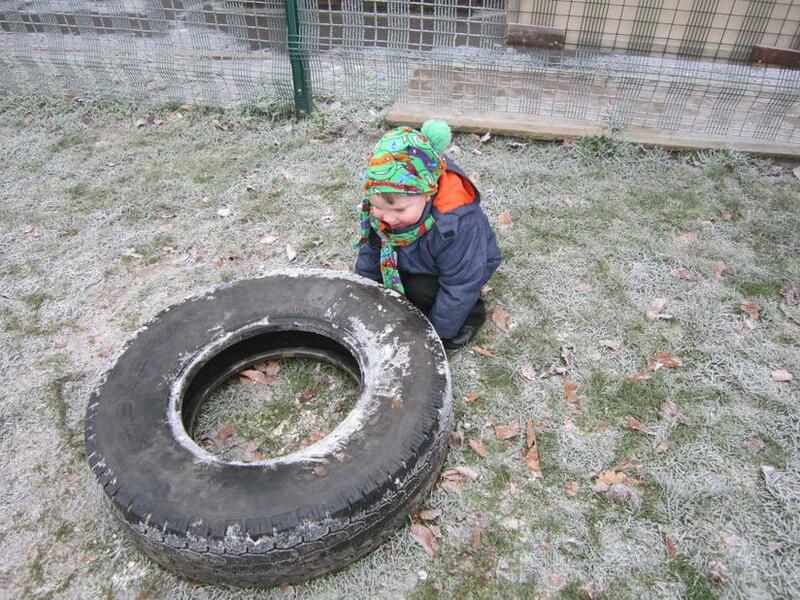 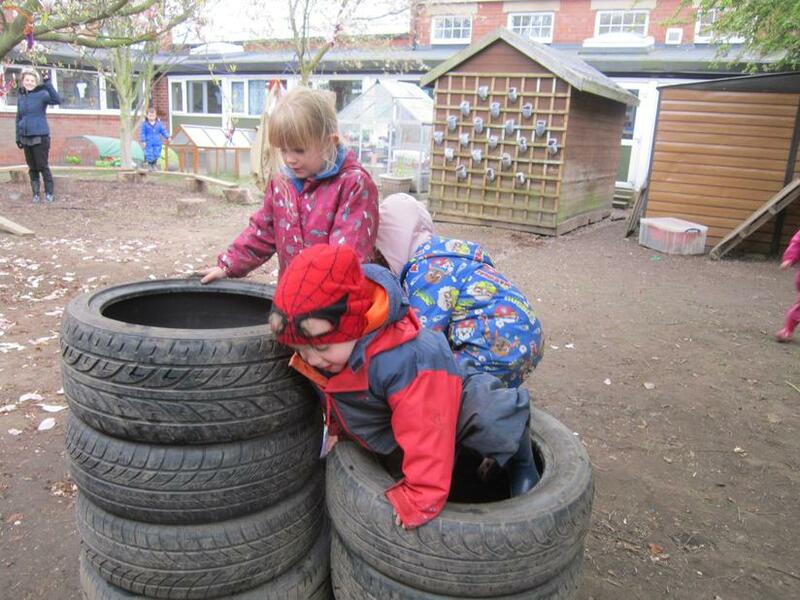 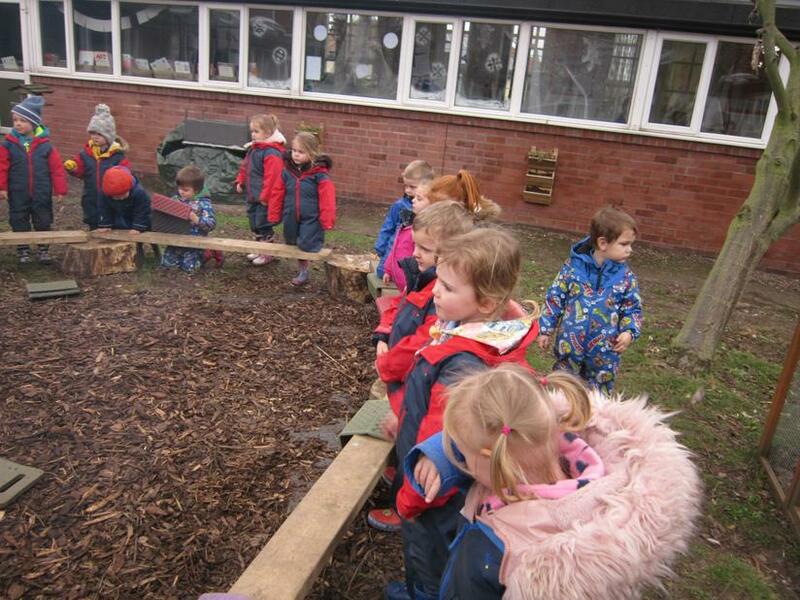 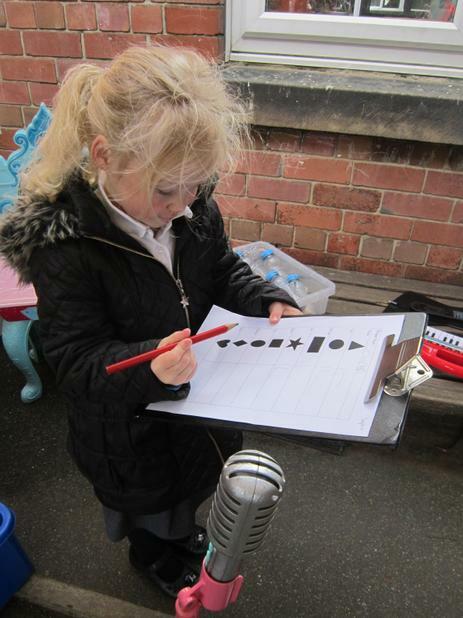 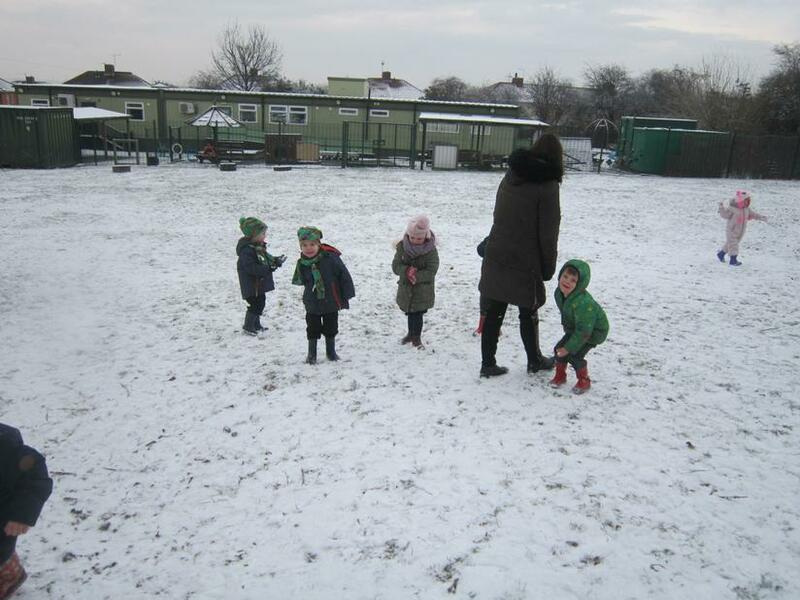 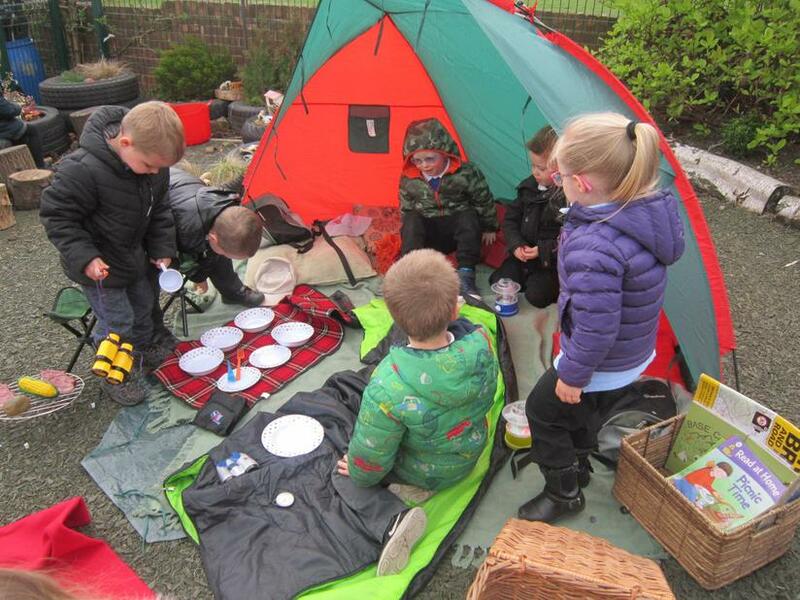 F1 having fun in our outdoor environment. 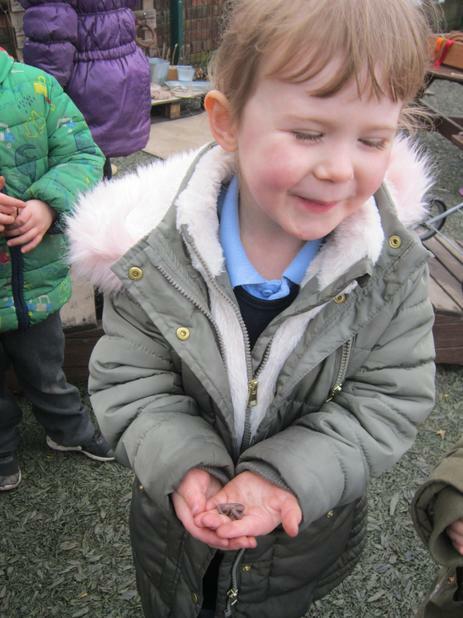 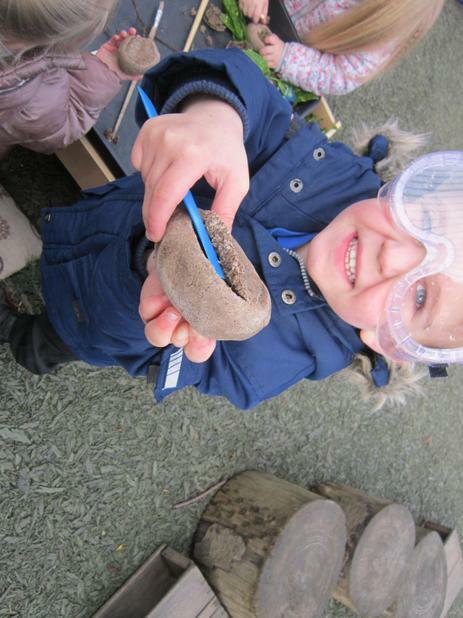 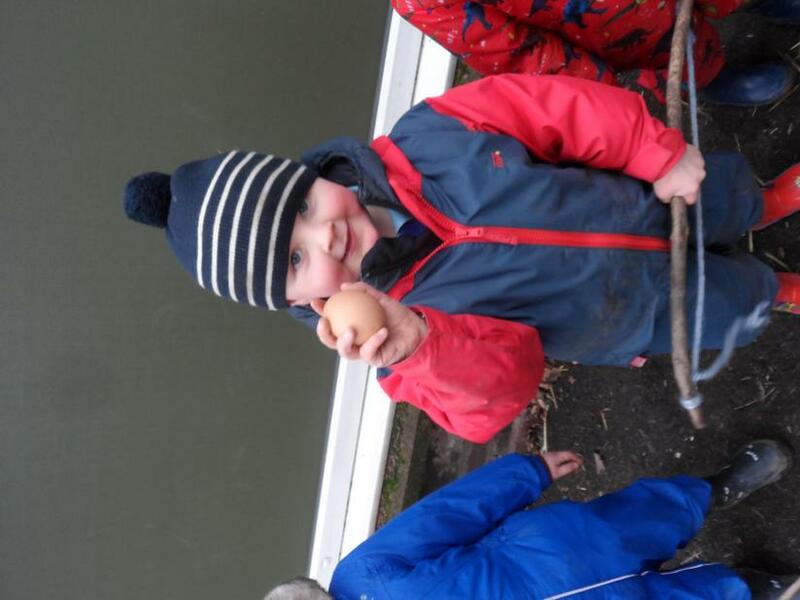 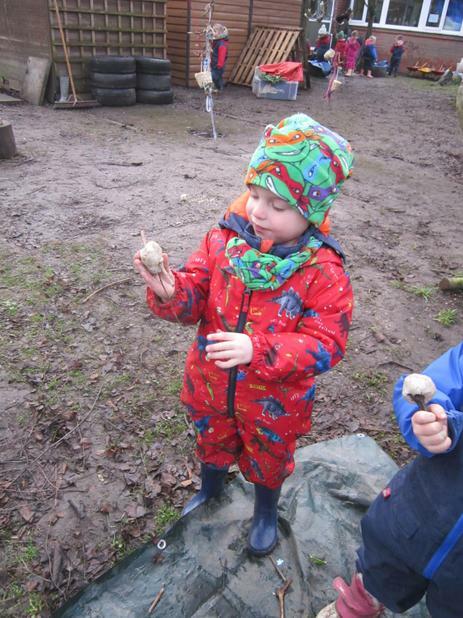 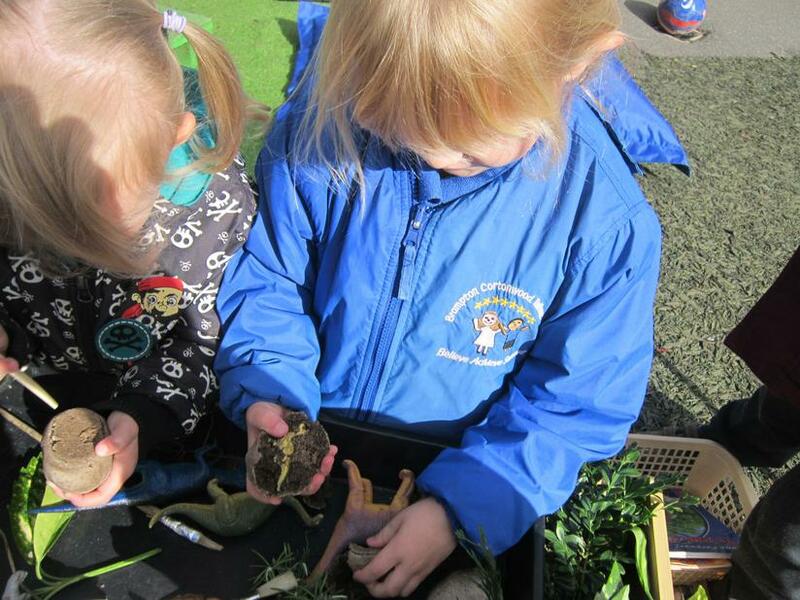 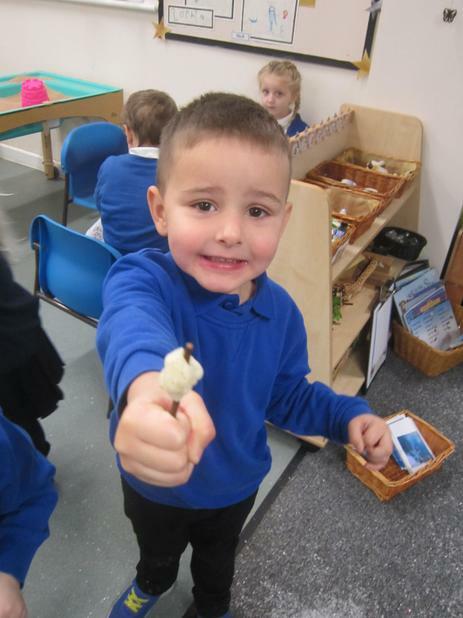 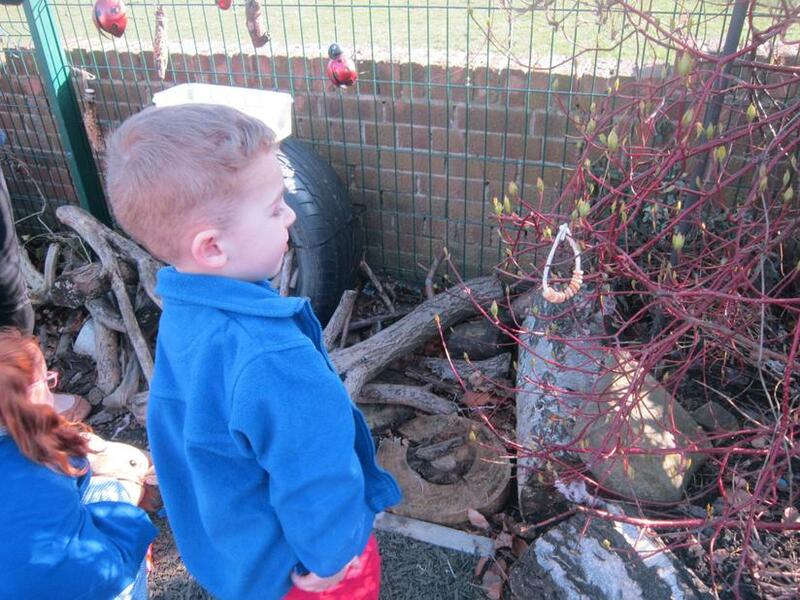 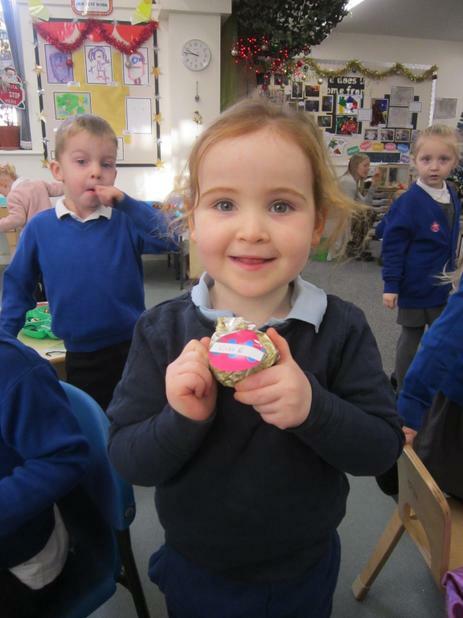 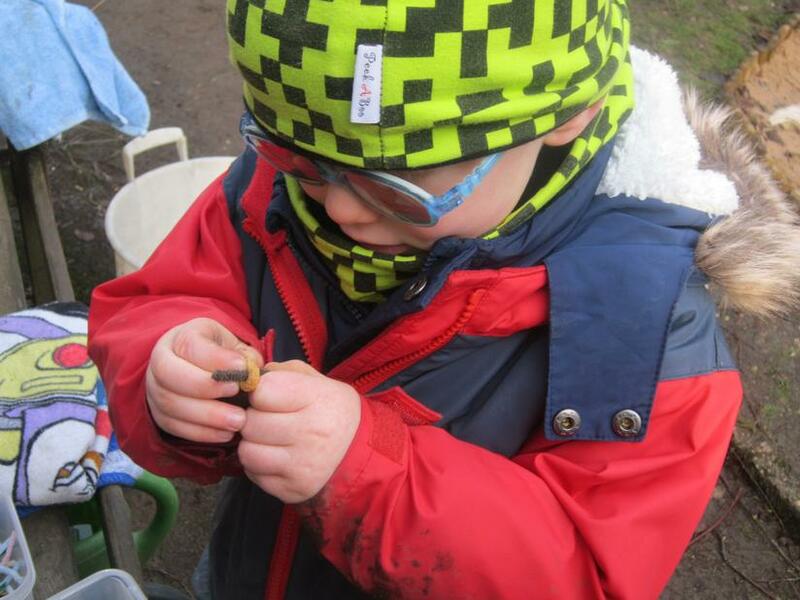 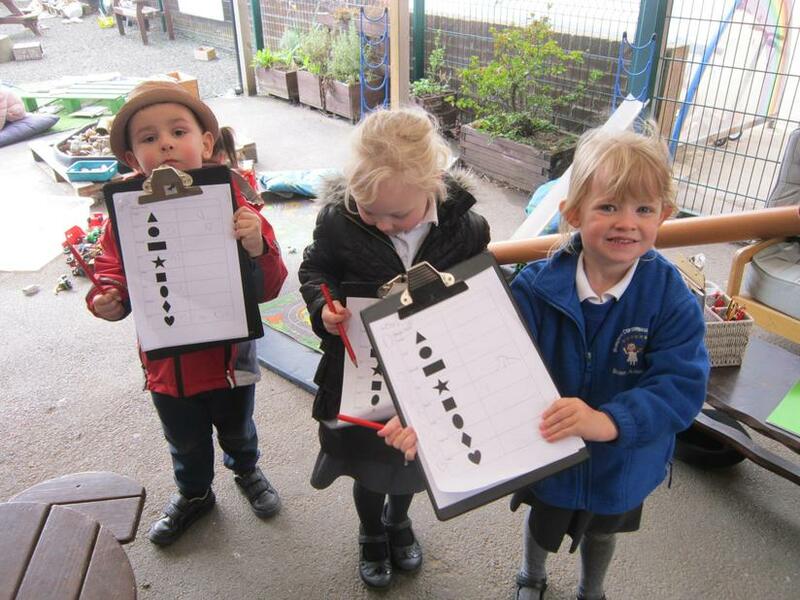 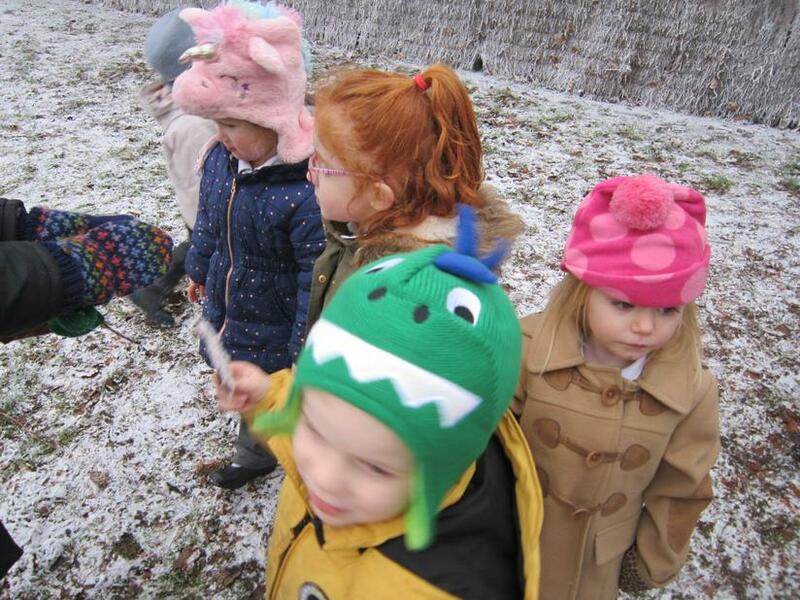 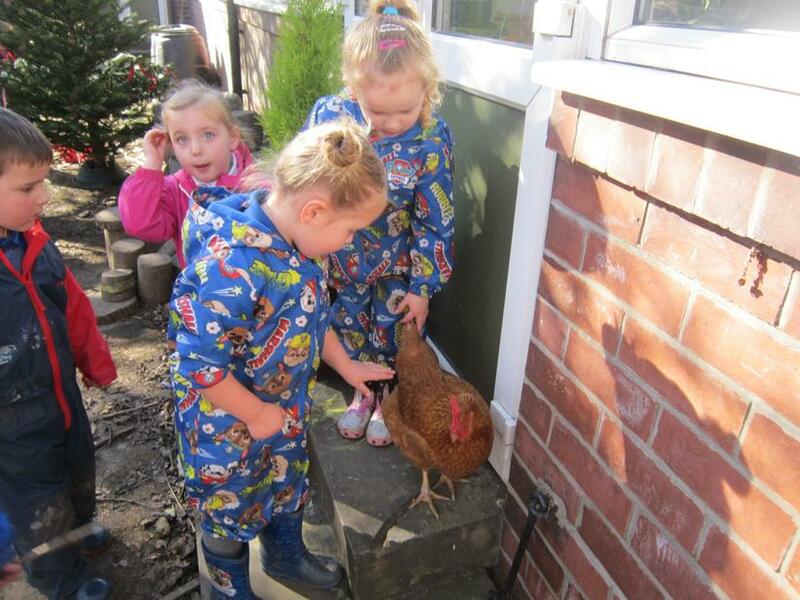 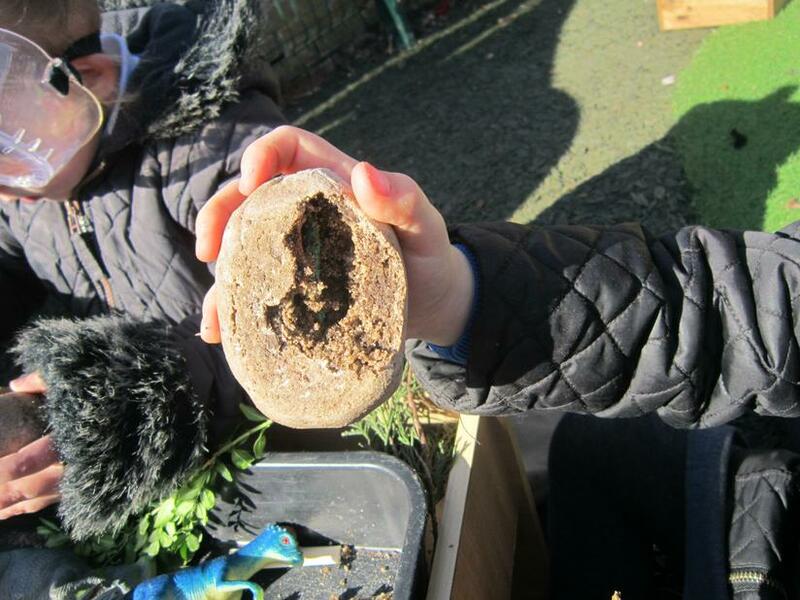 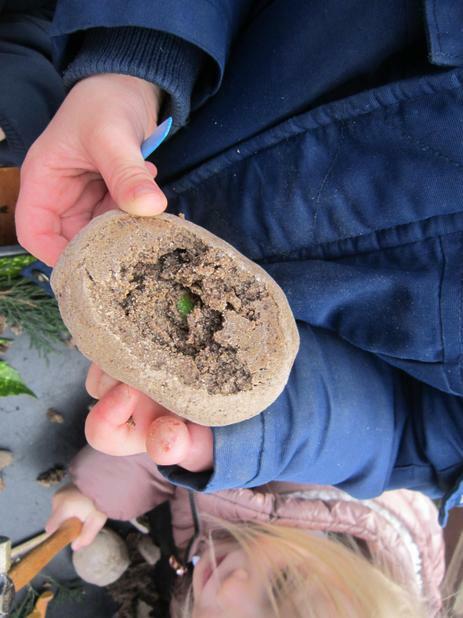 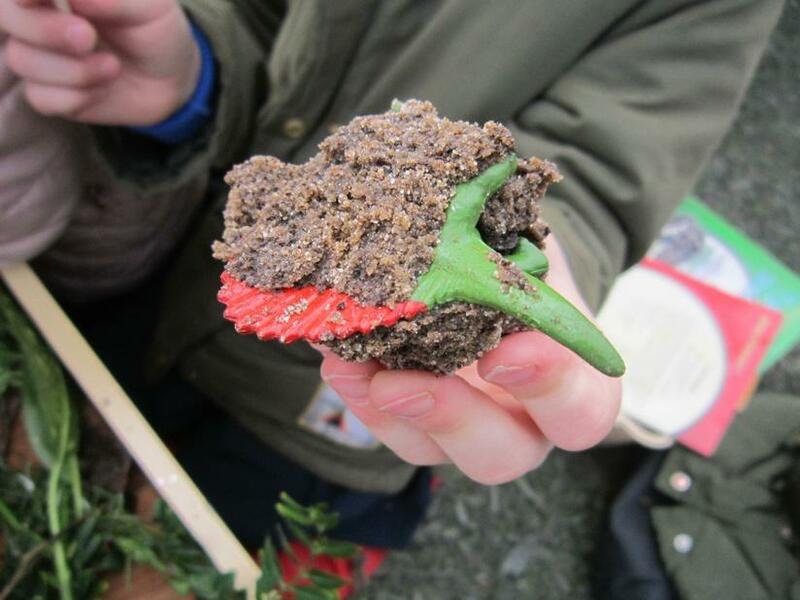 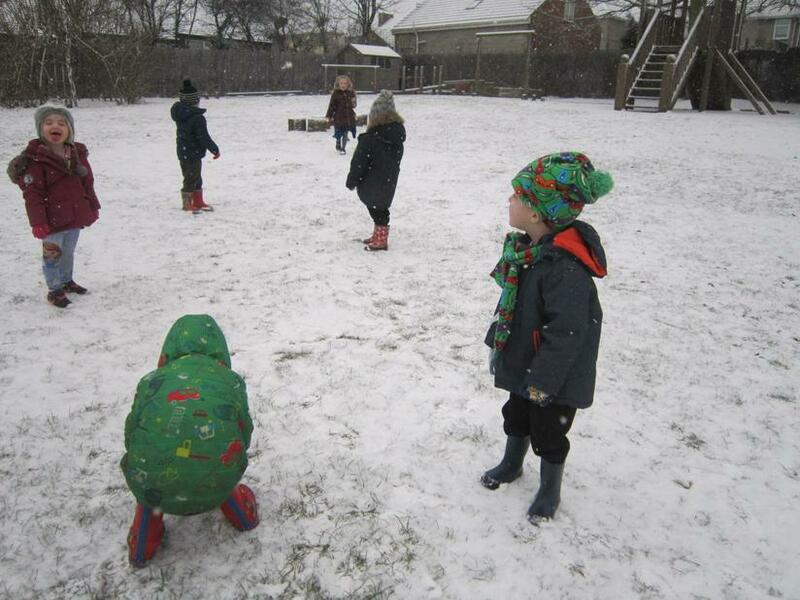 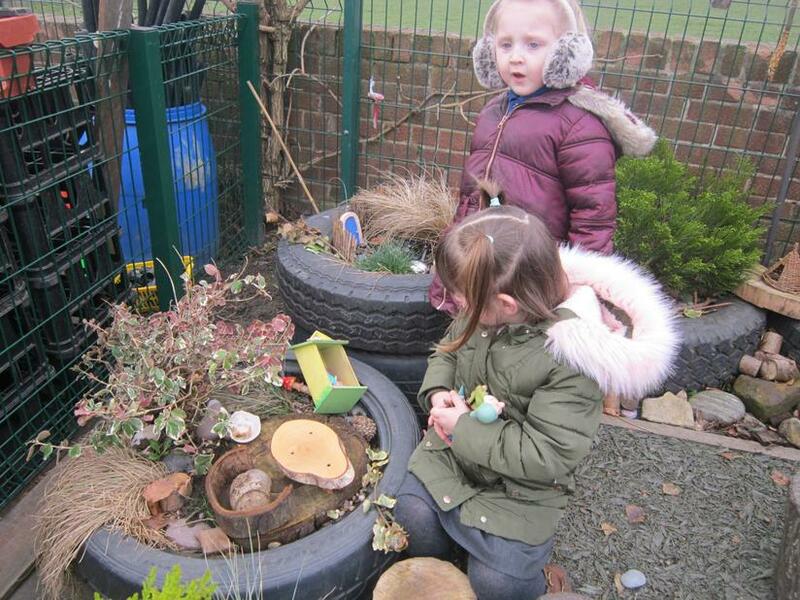 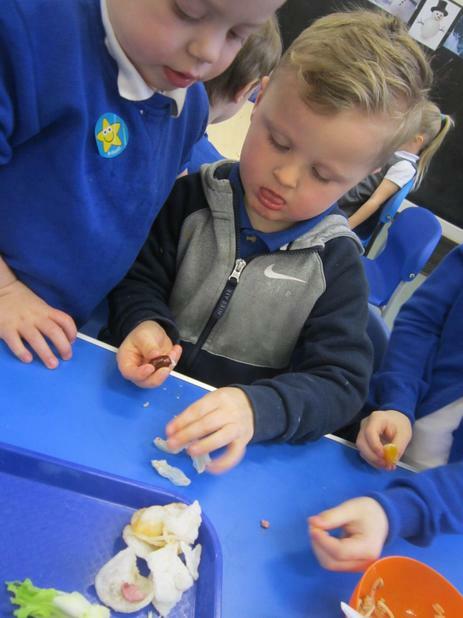 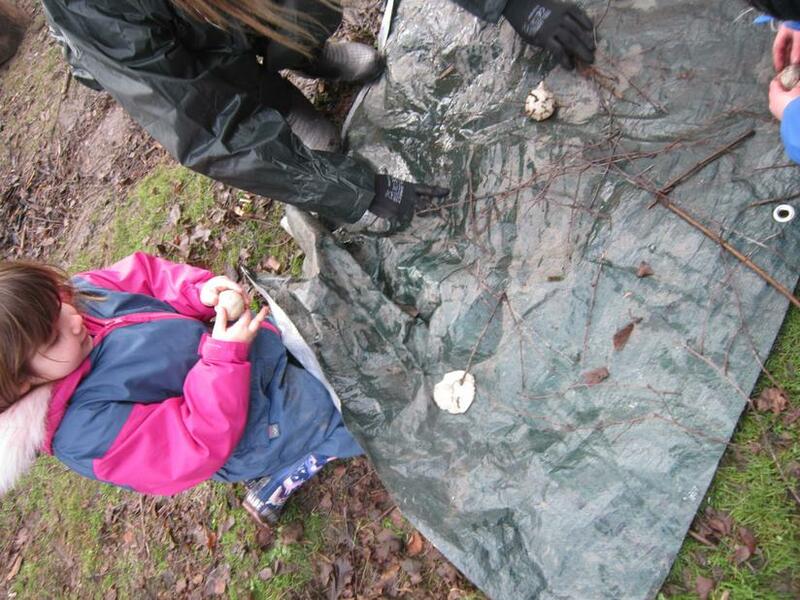 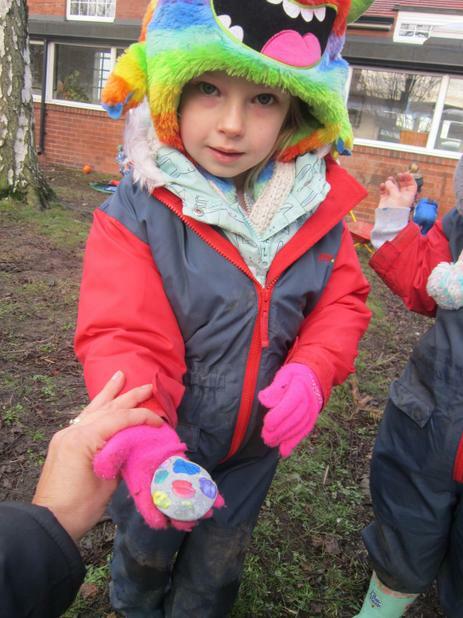 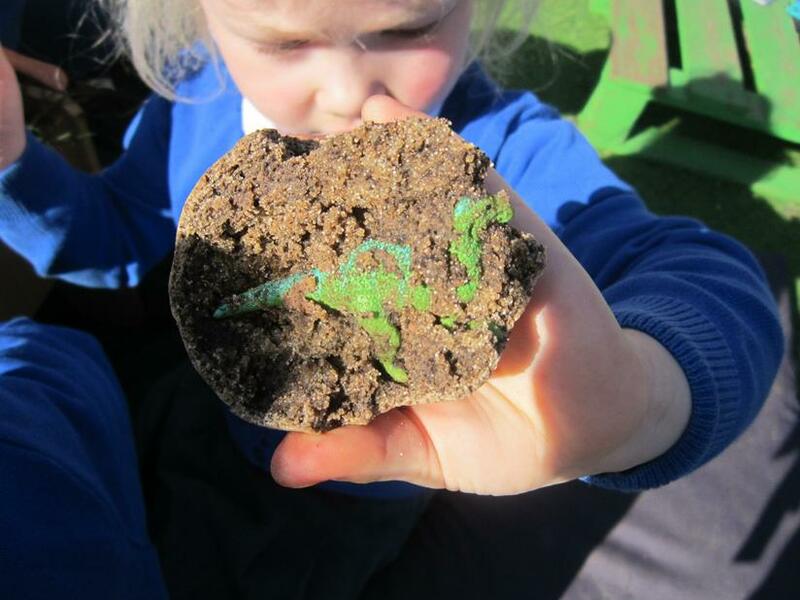 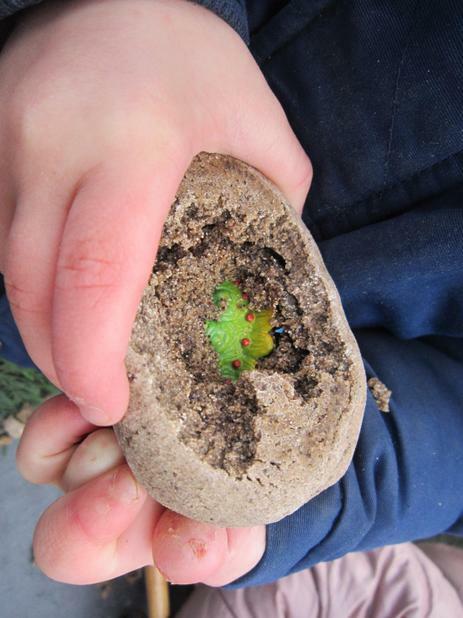 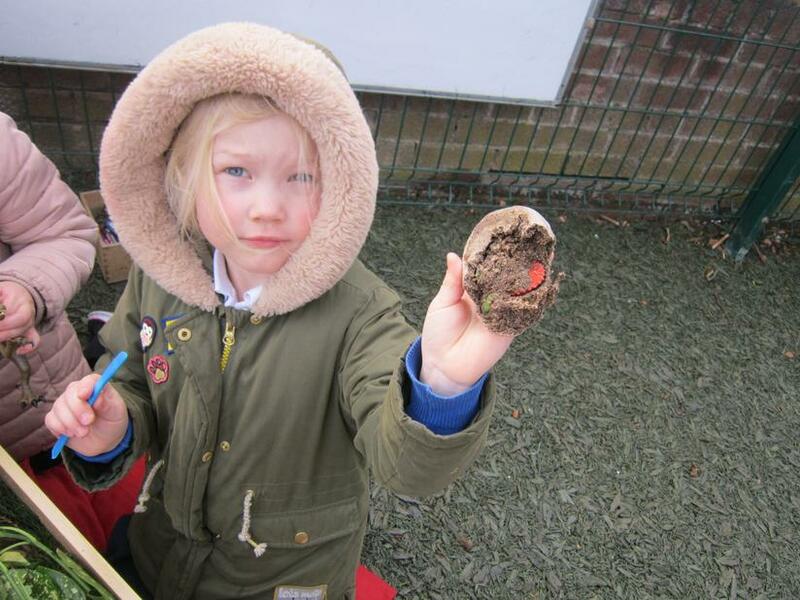 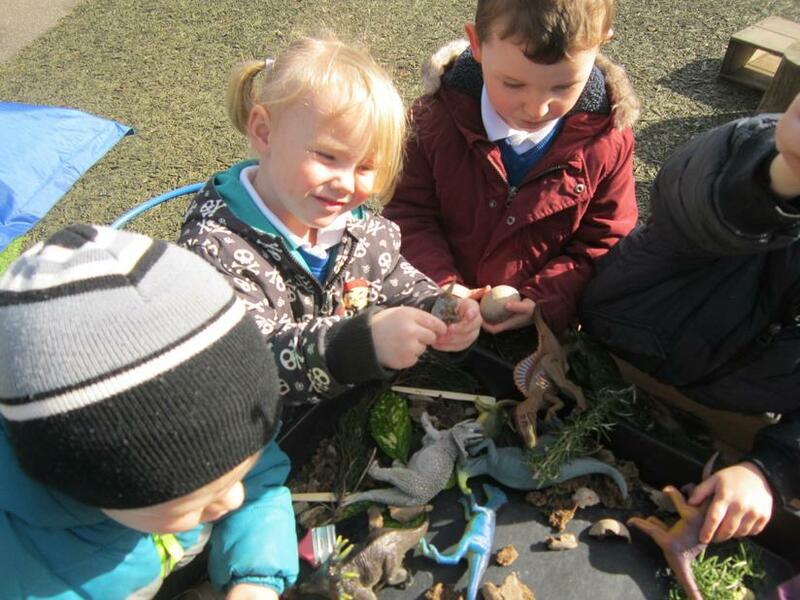 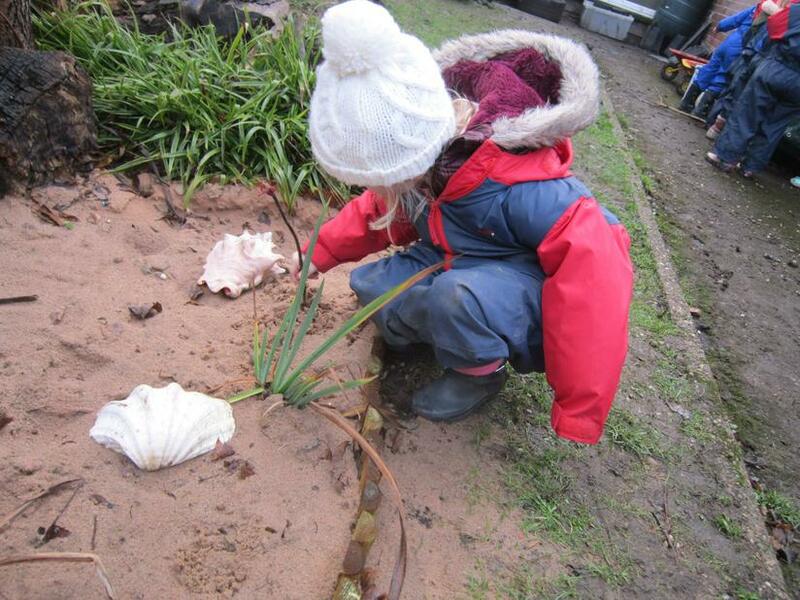 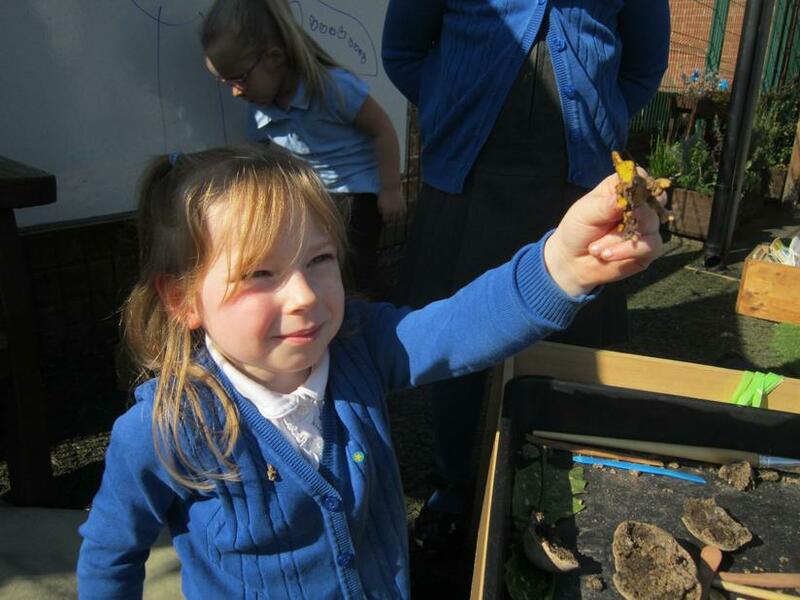 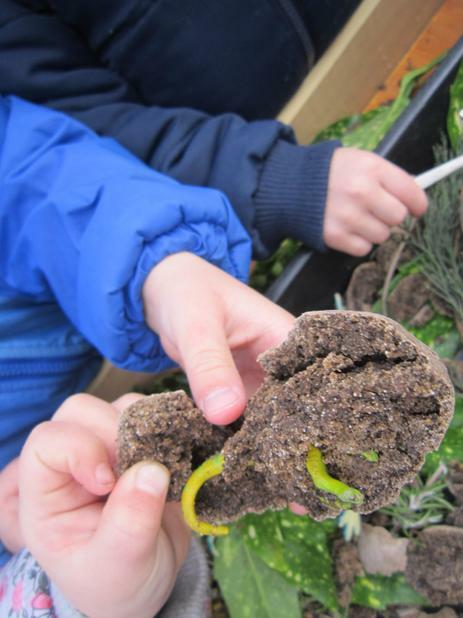 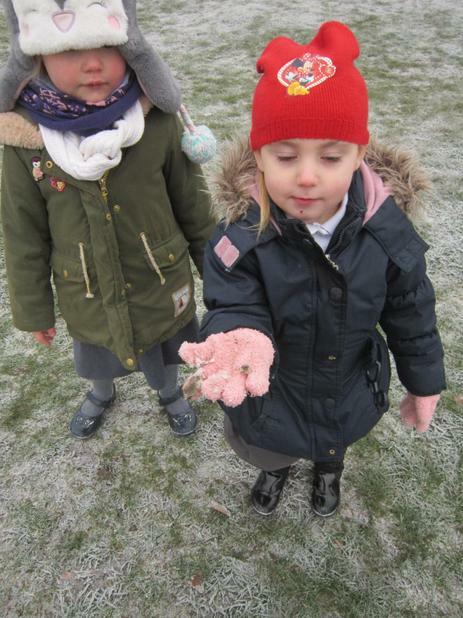 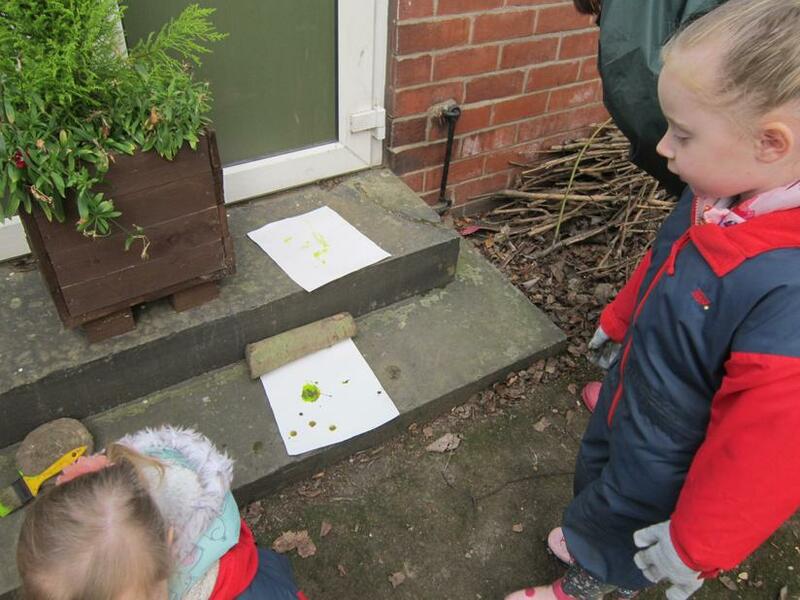 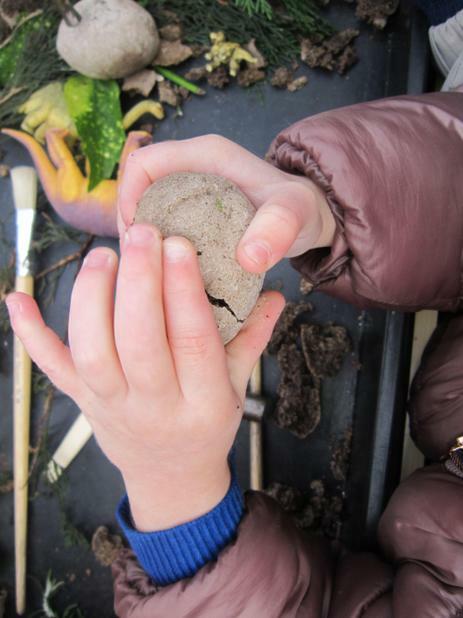 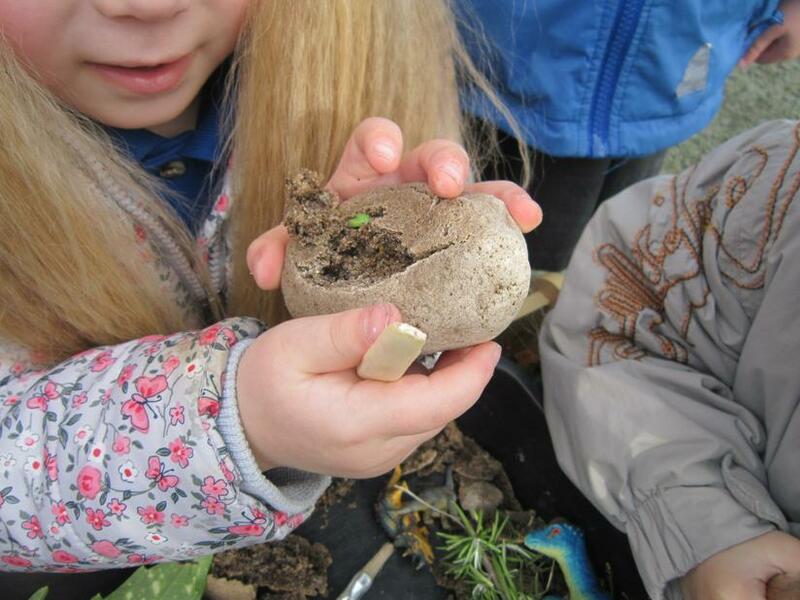 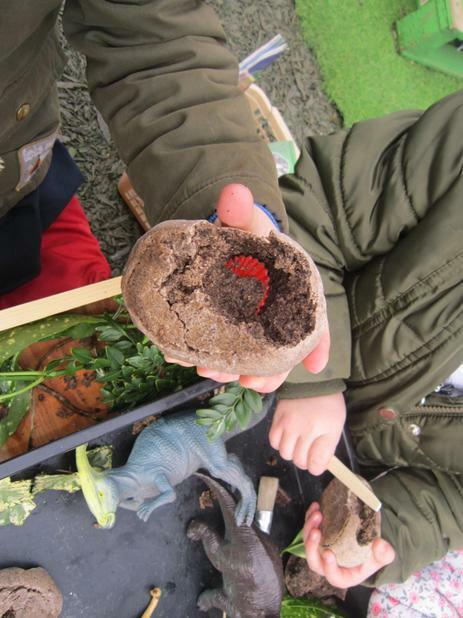 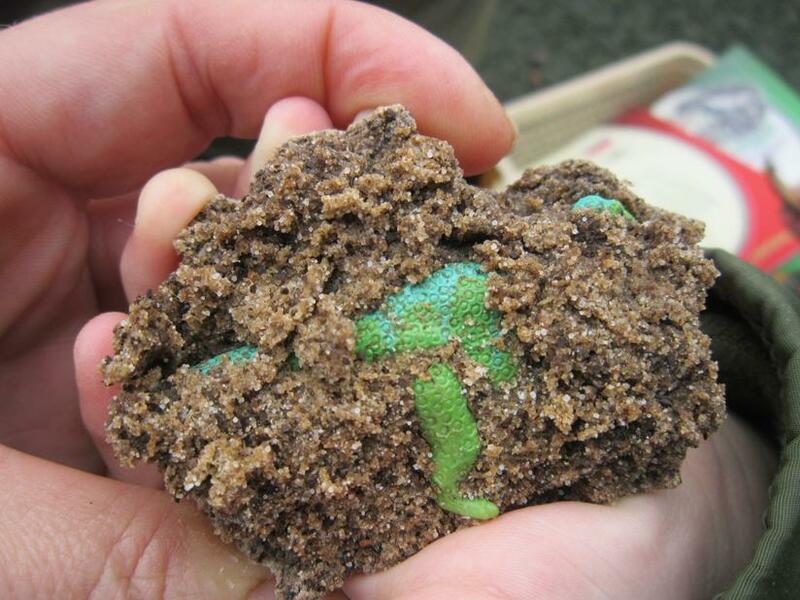 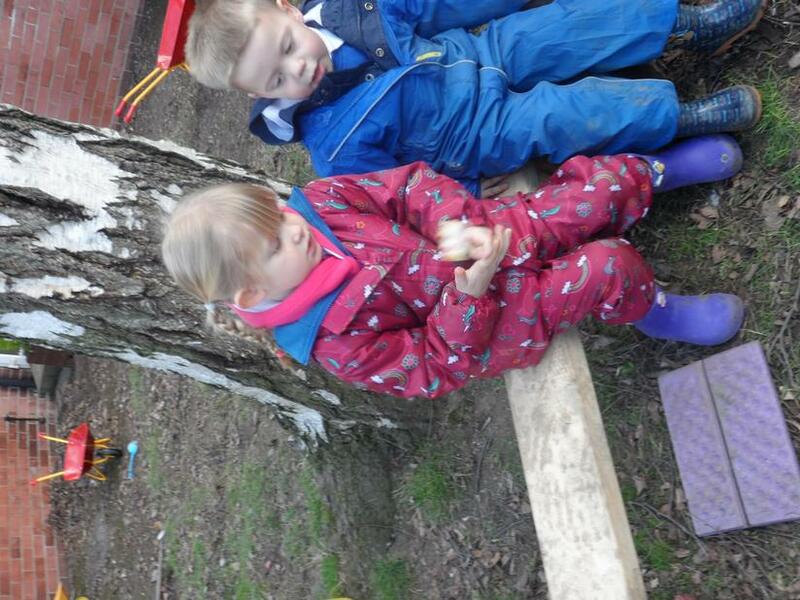 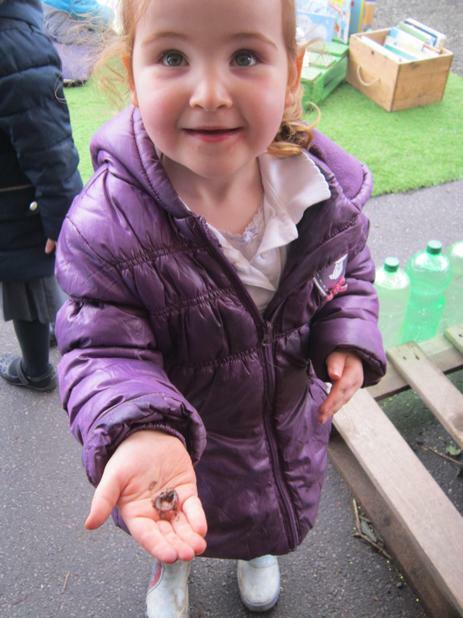 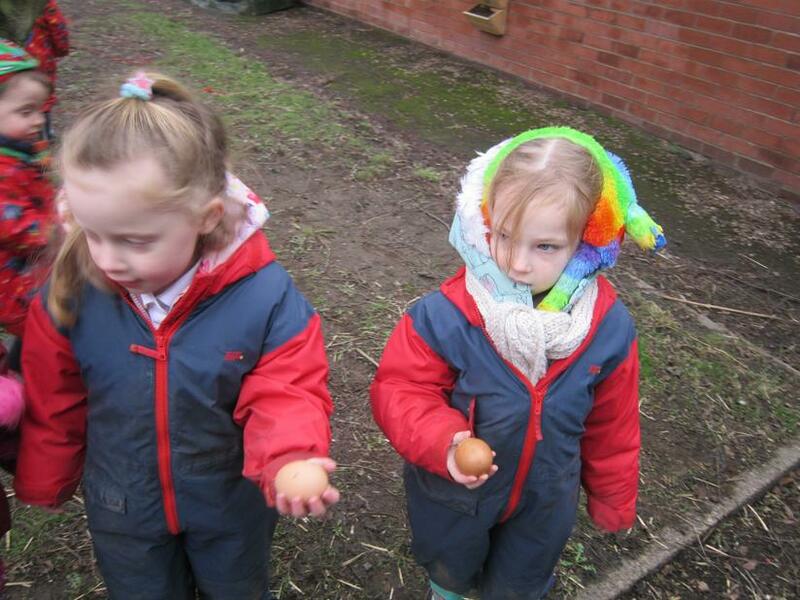 As part of our dinosaur magic key adventure we had a fossil hunt and found some dinosaur egg. 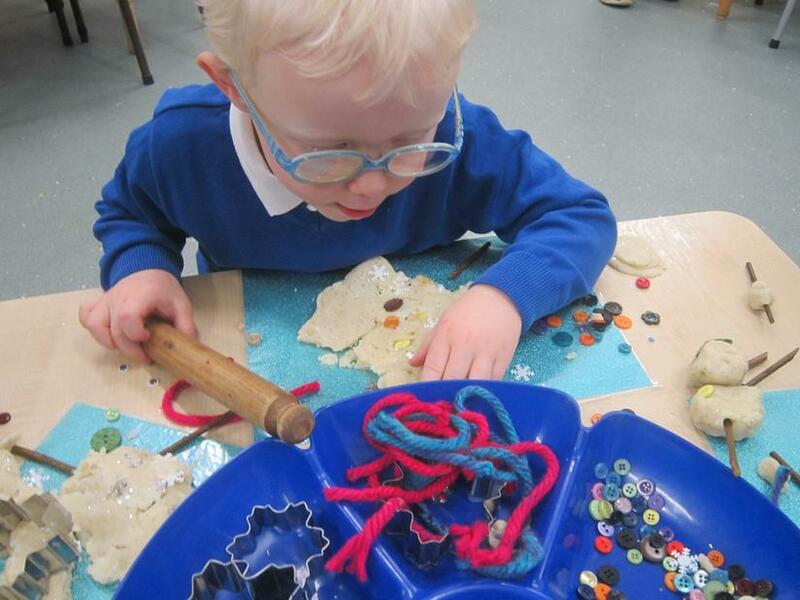 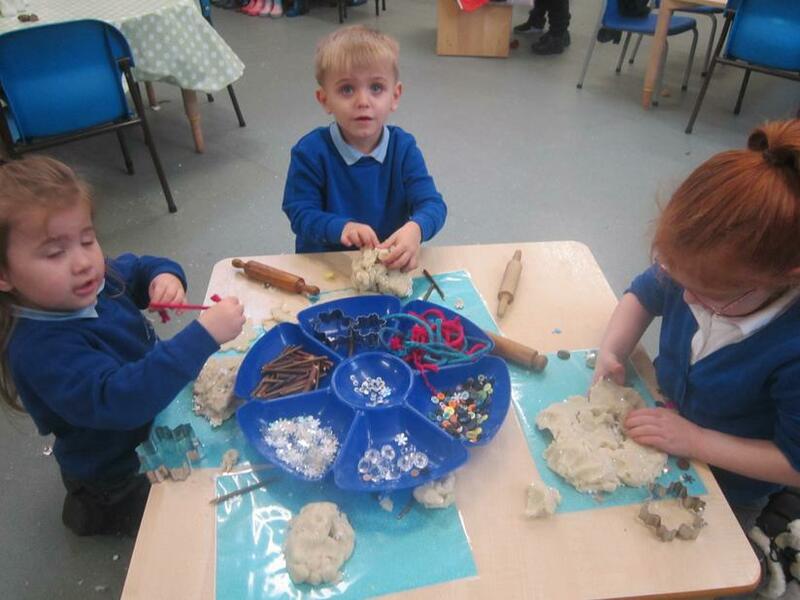 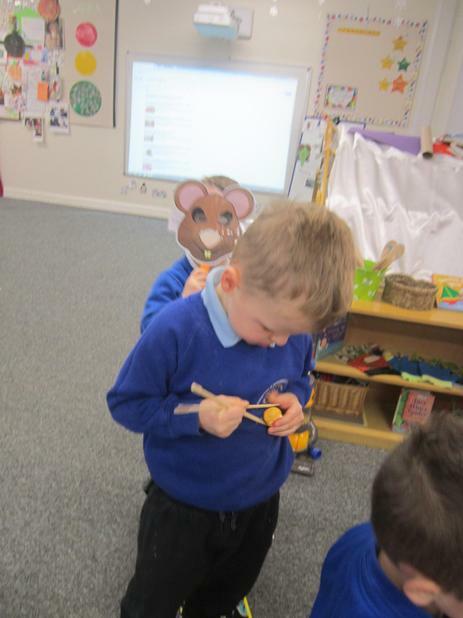 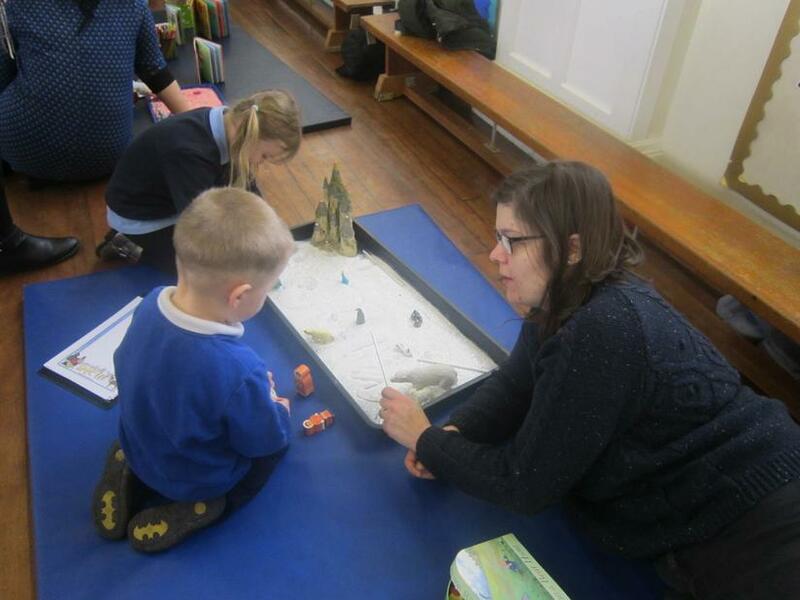 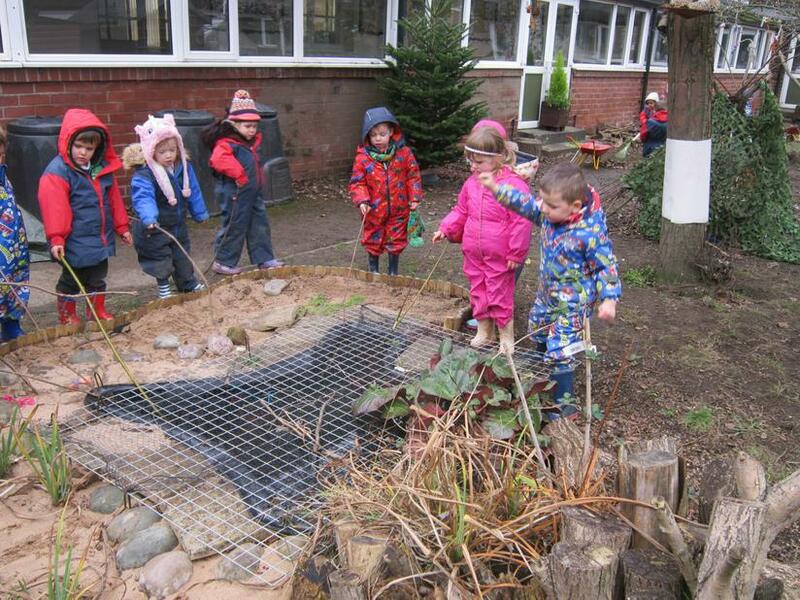 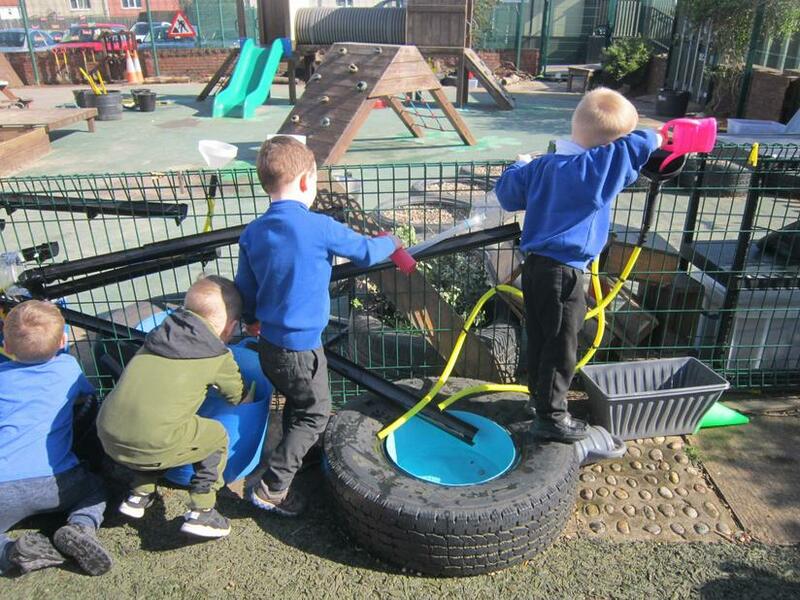 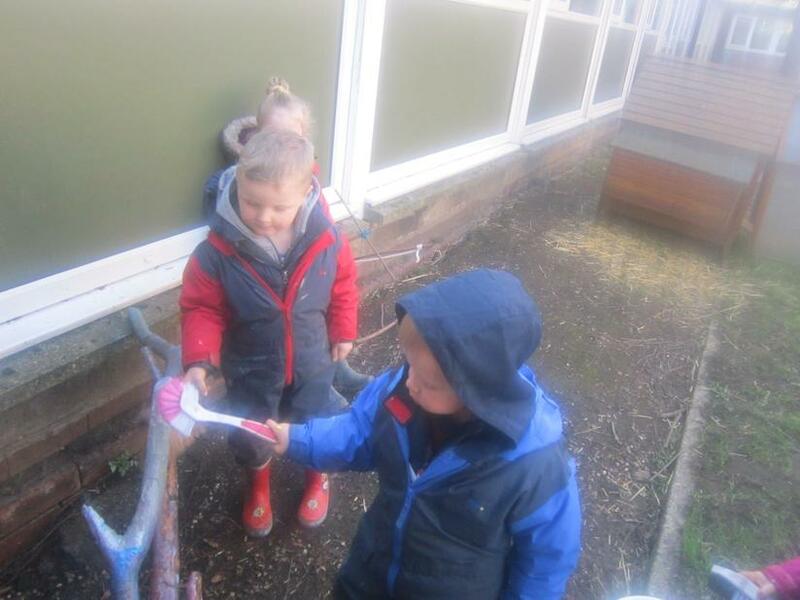 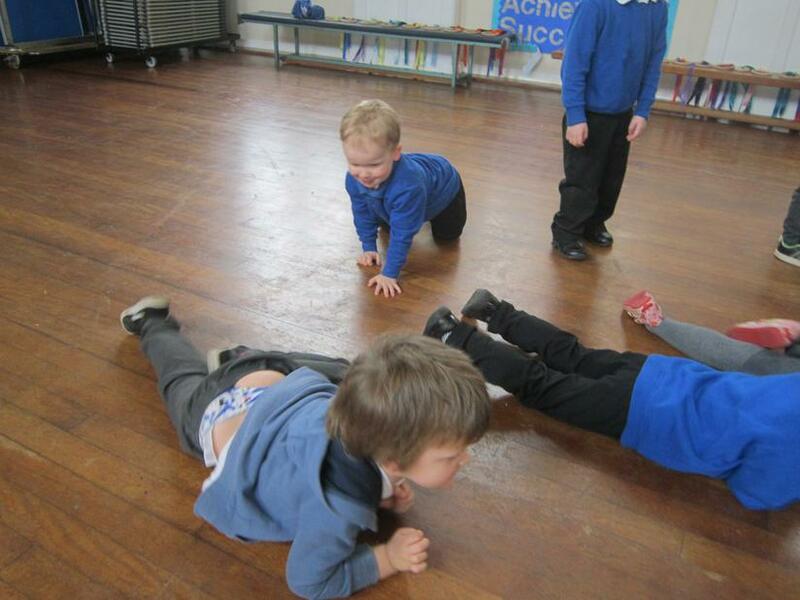 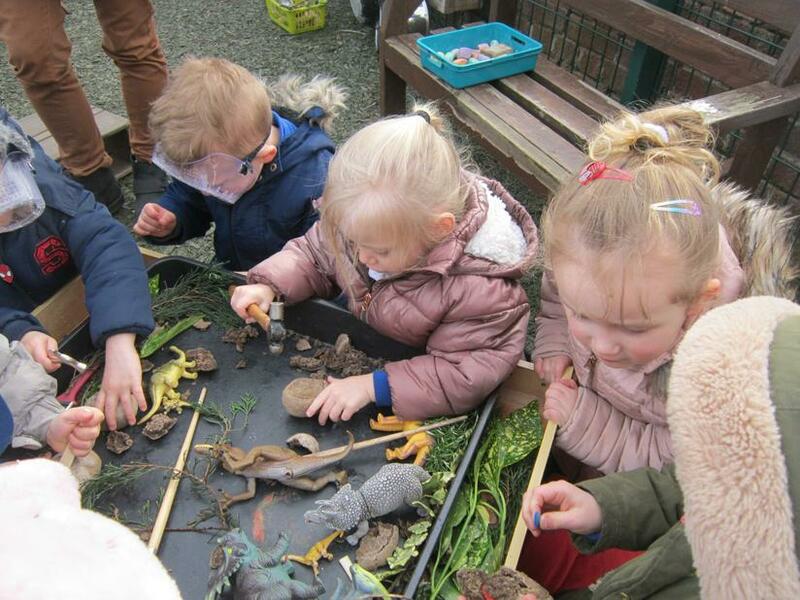 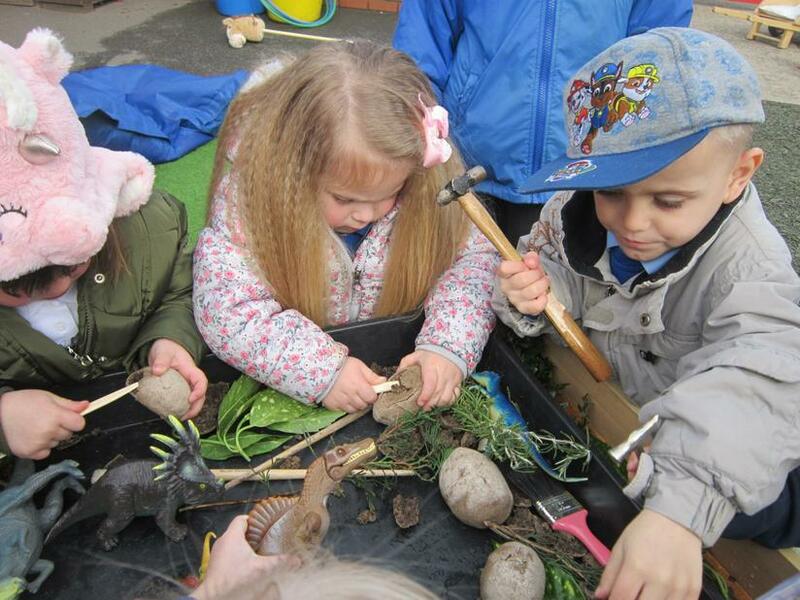 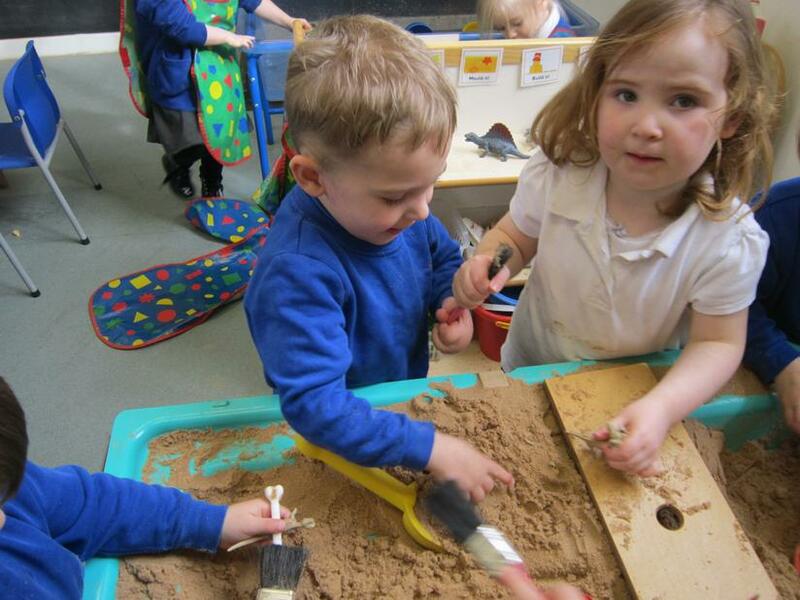 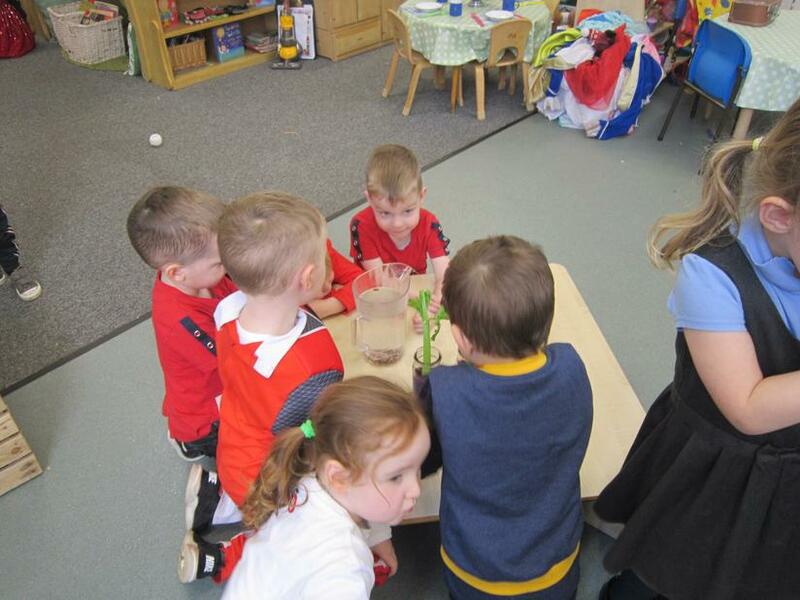 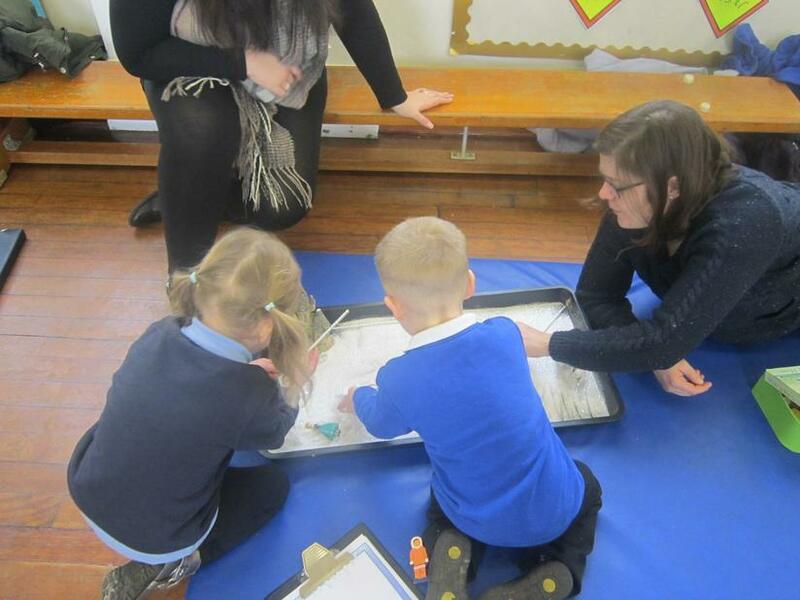 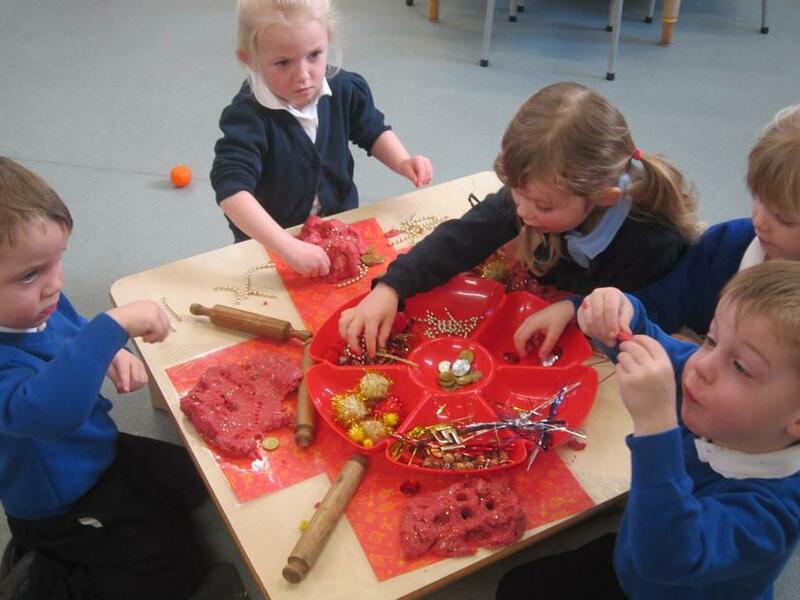 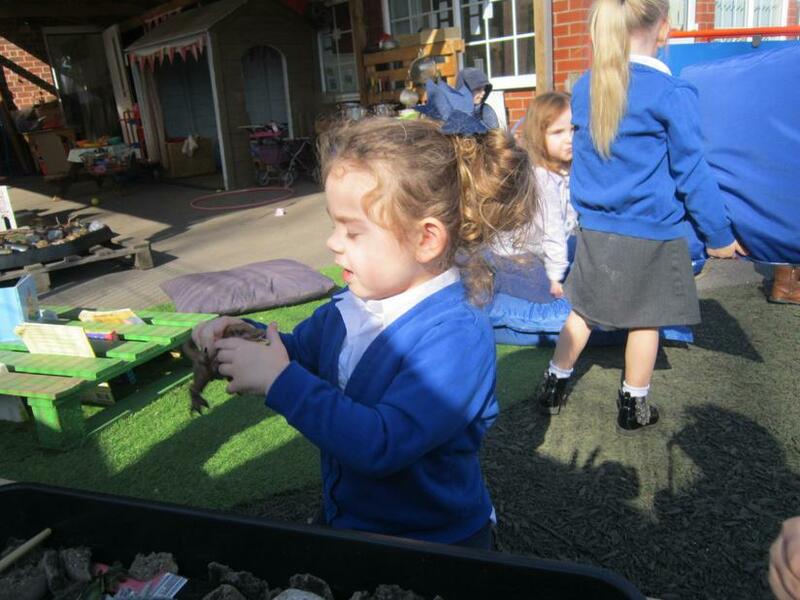 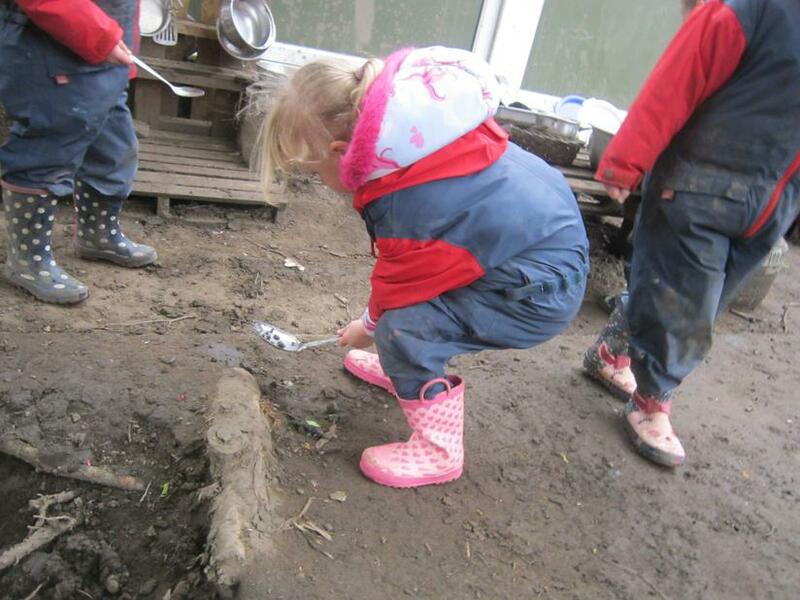 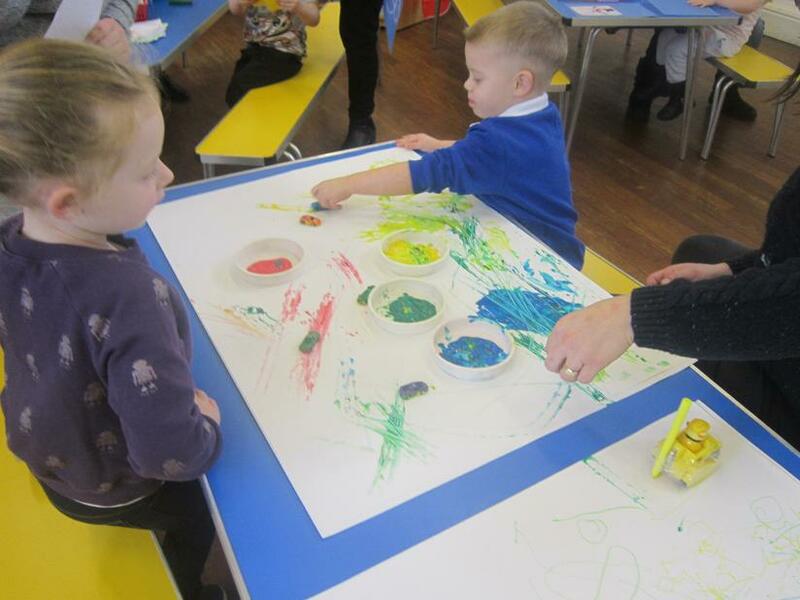 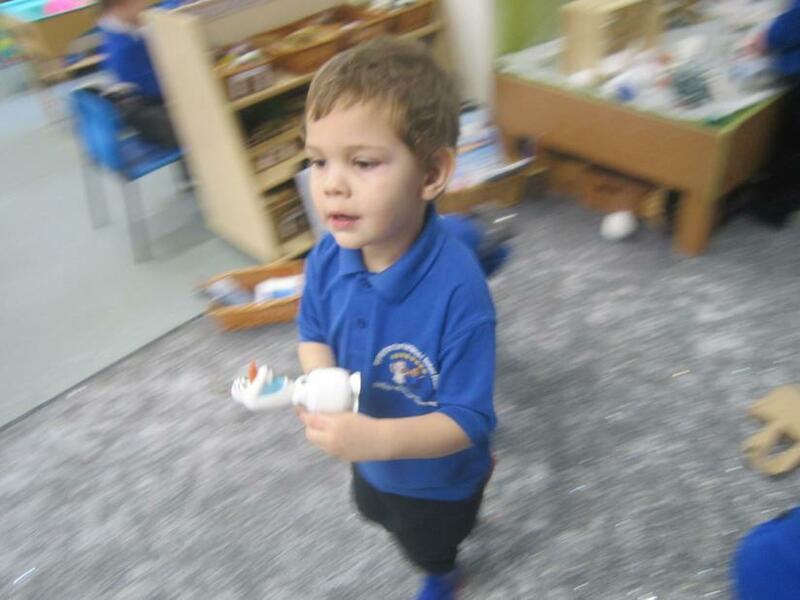 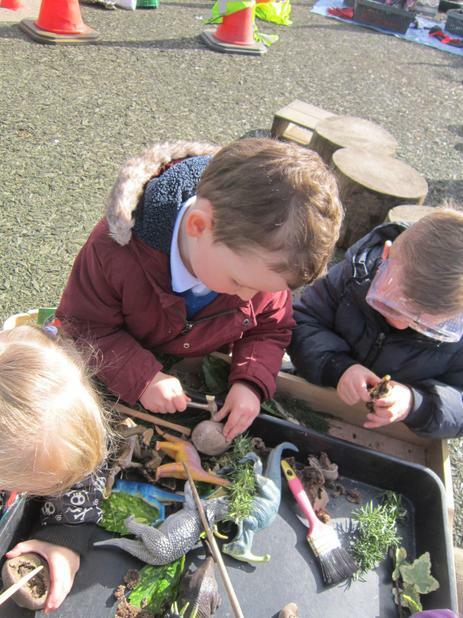 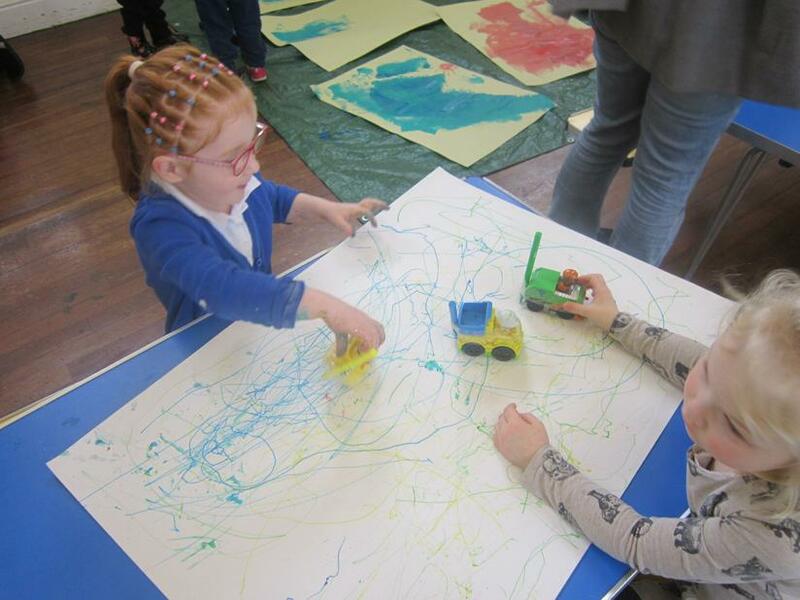 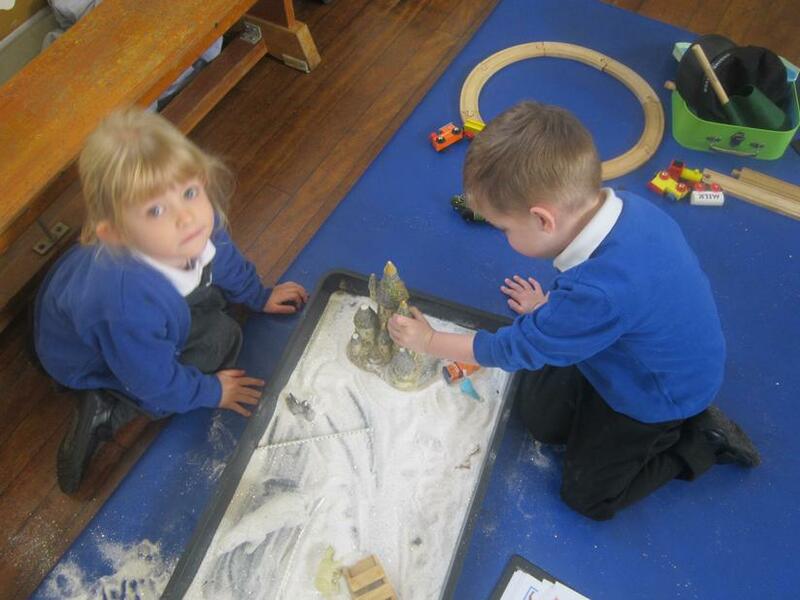 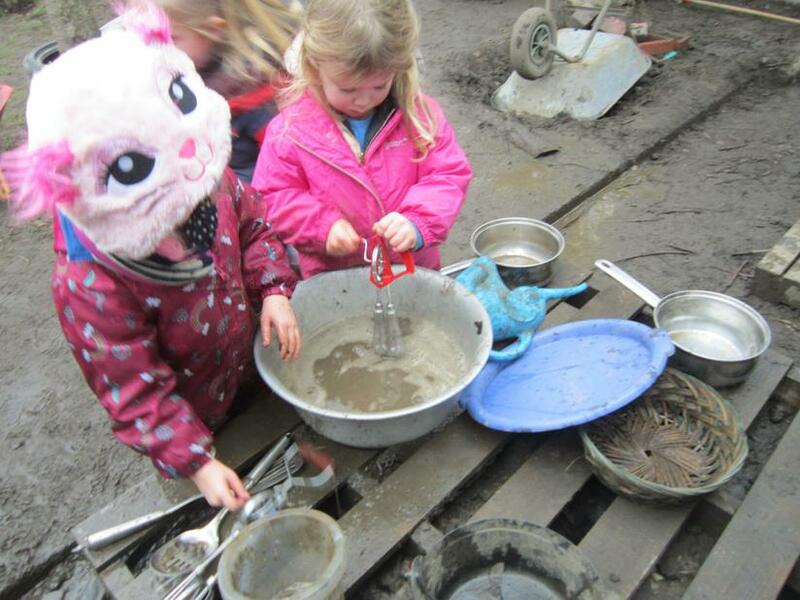 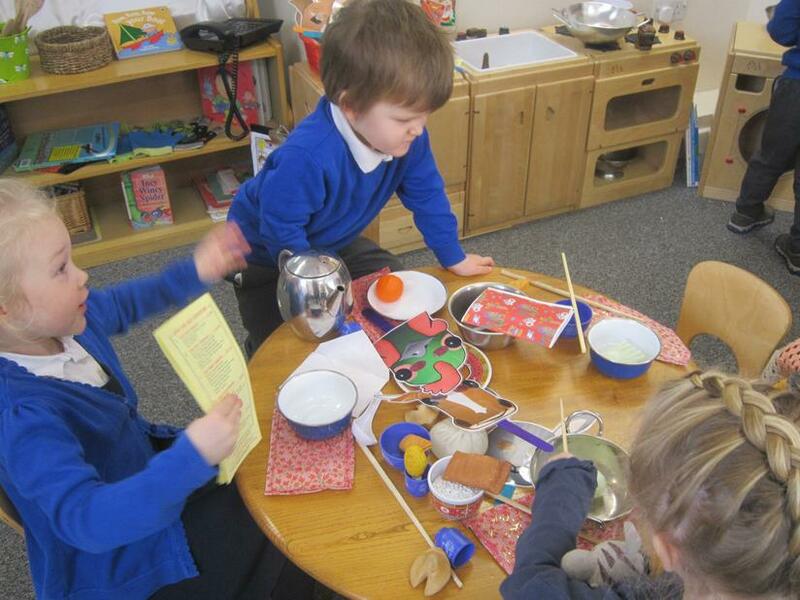 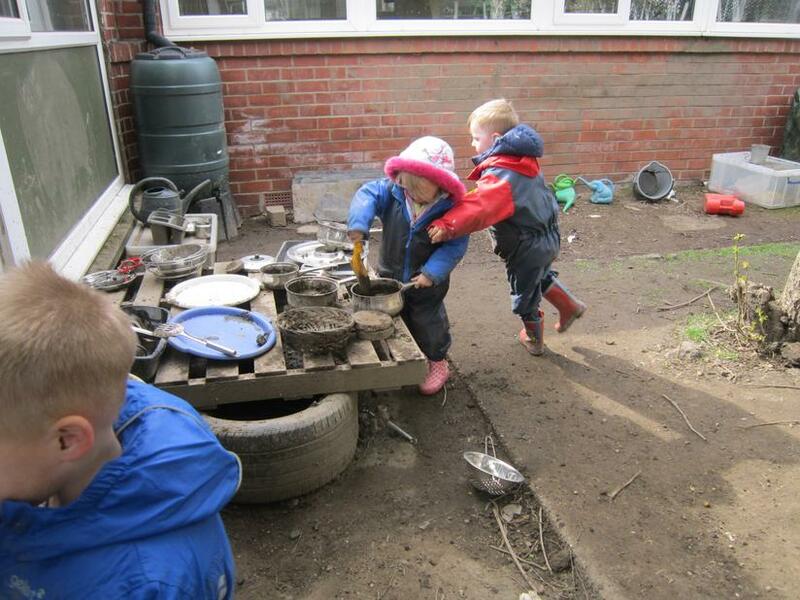 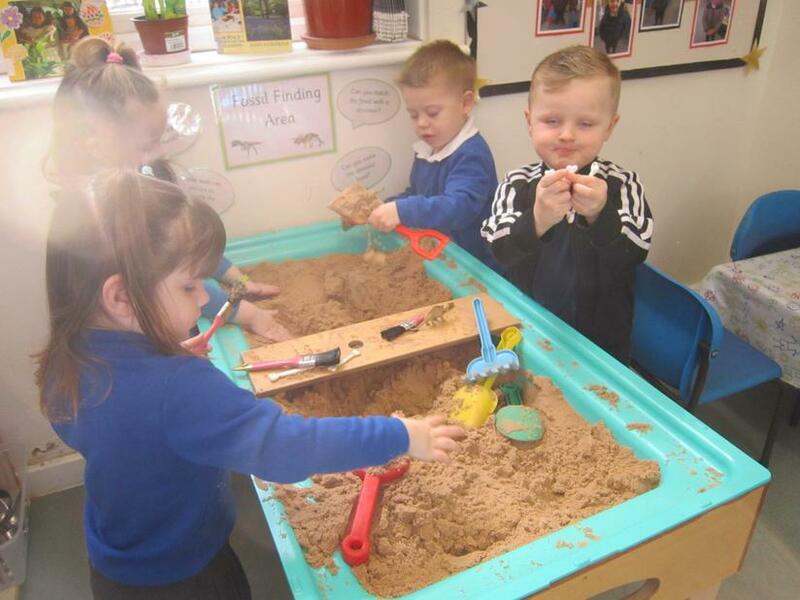 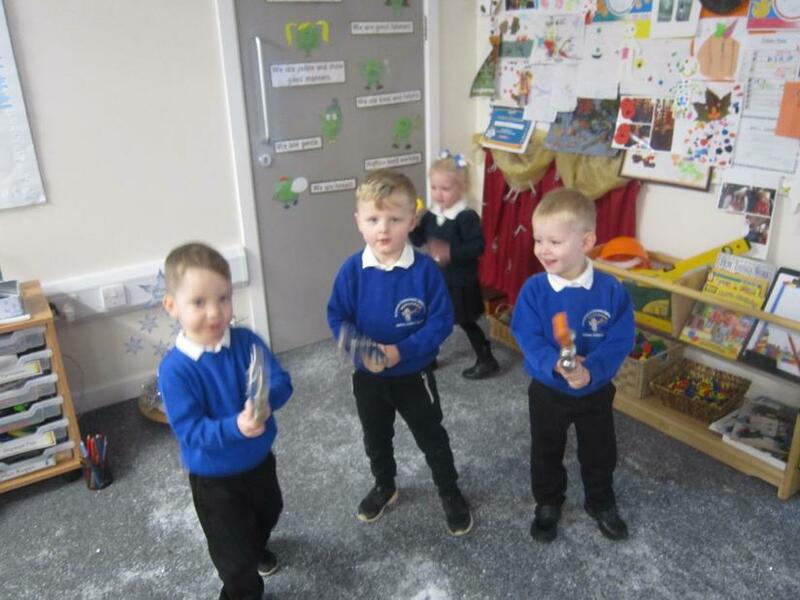 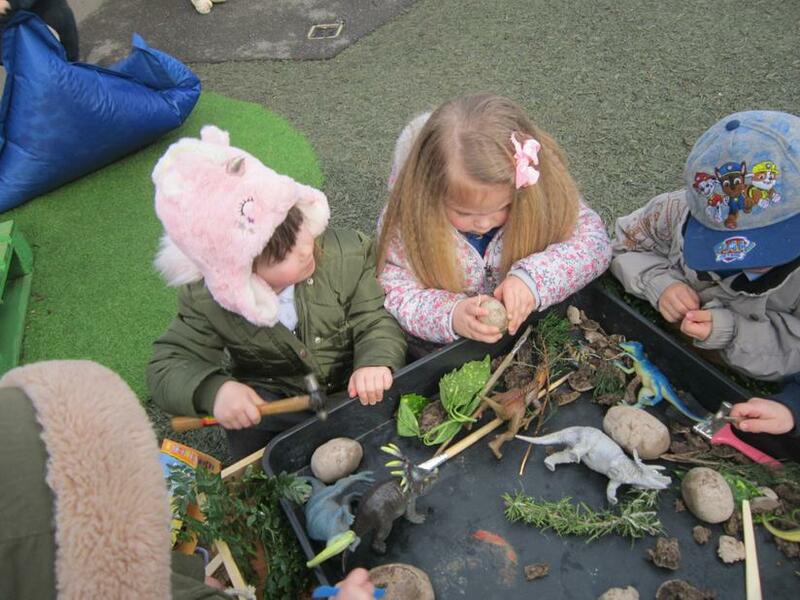 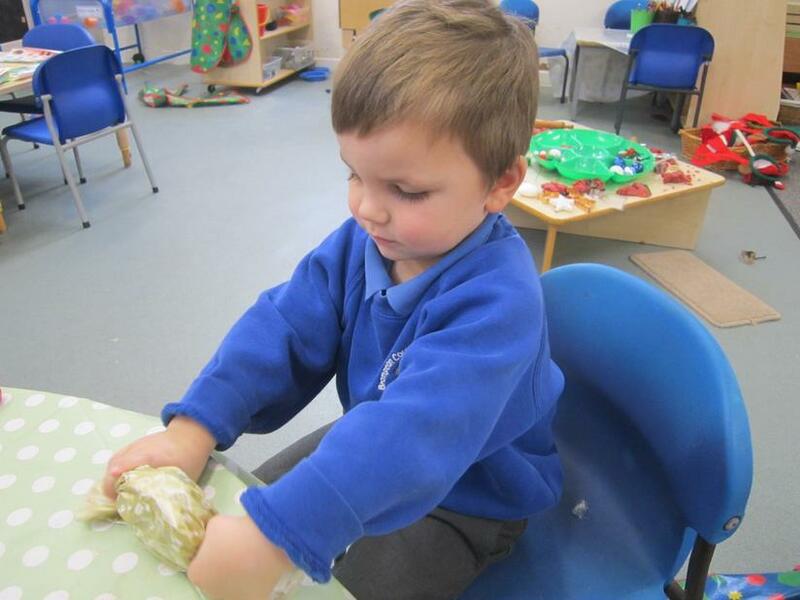 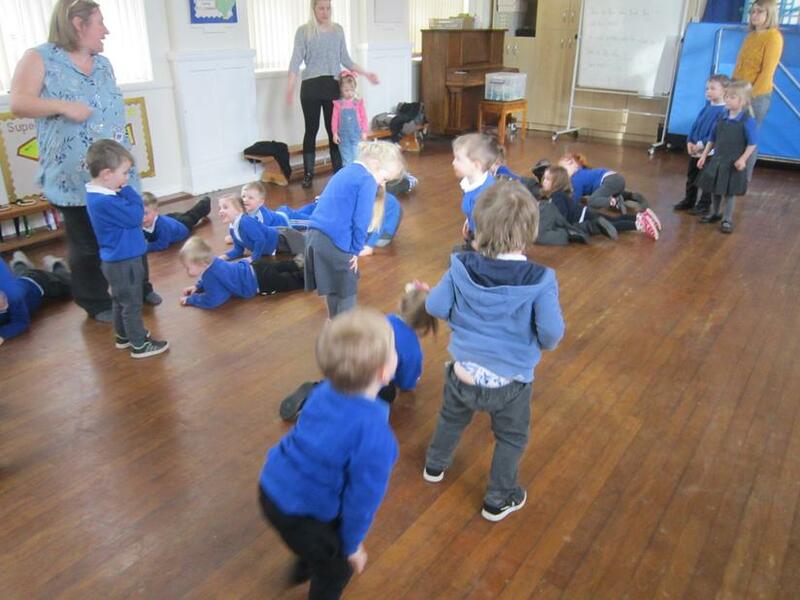 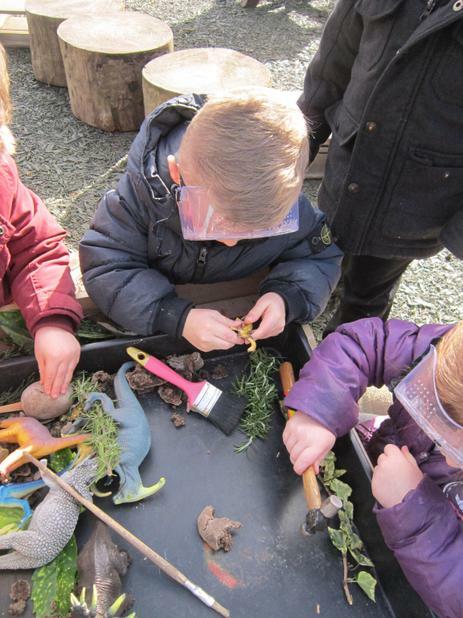 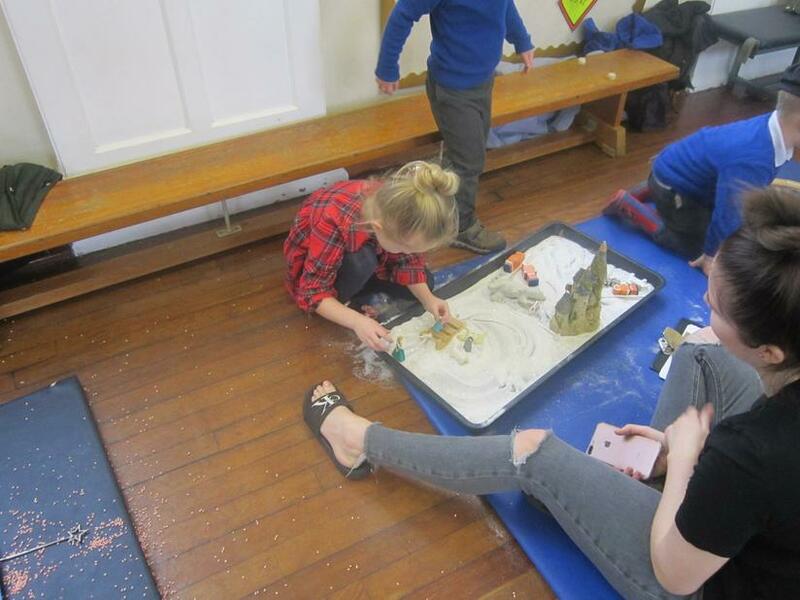 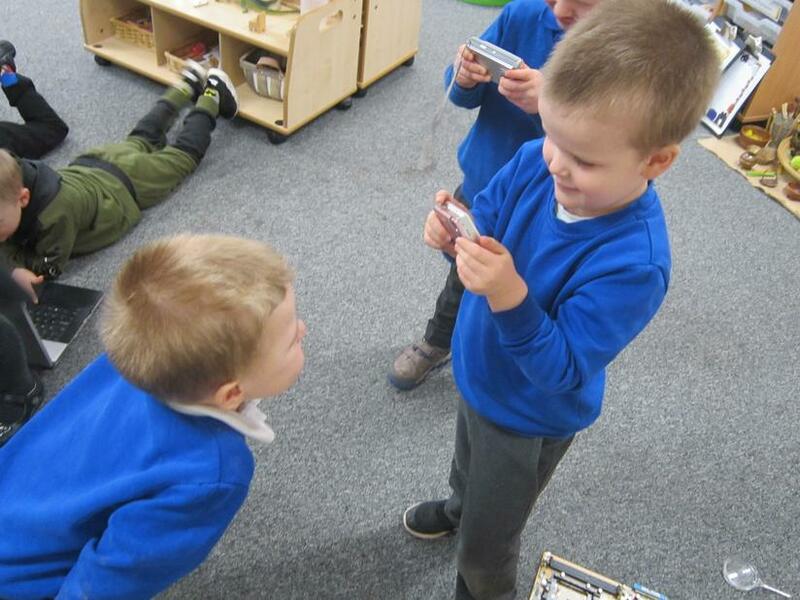 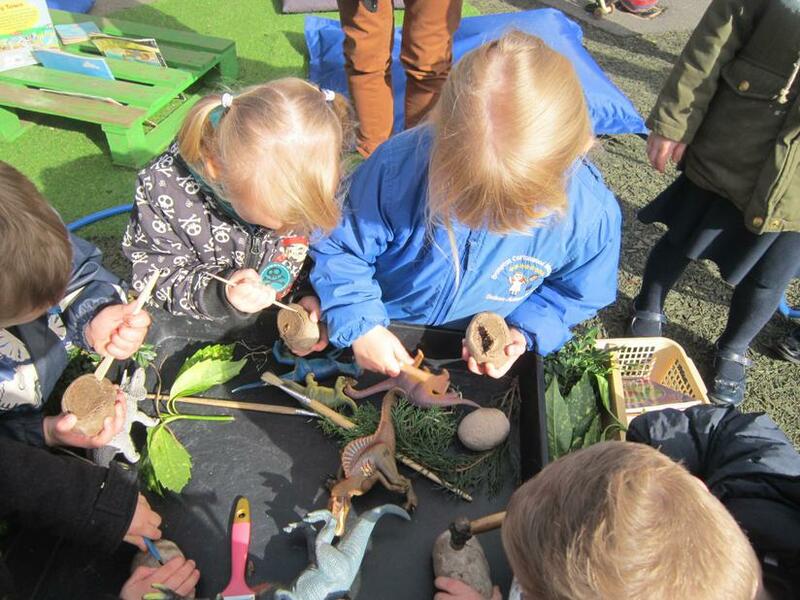 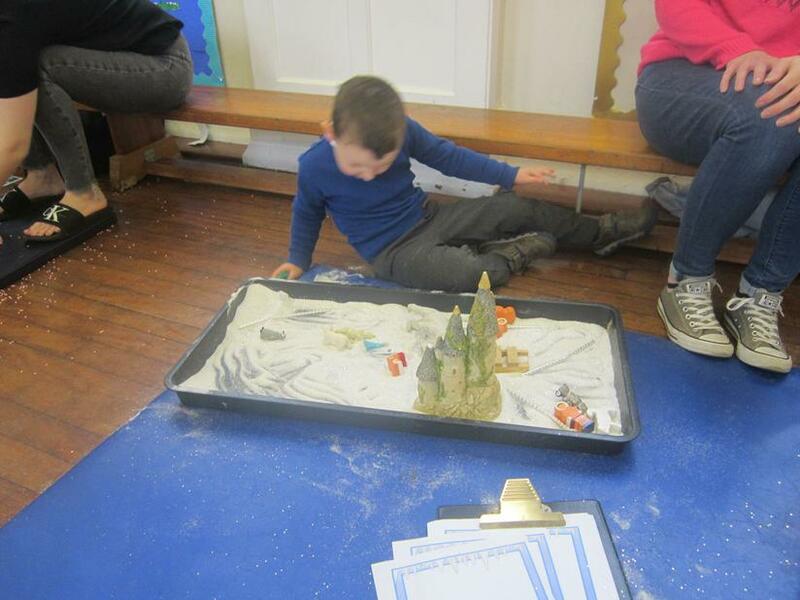 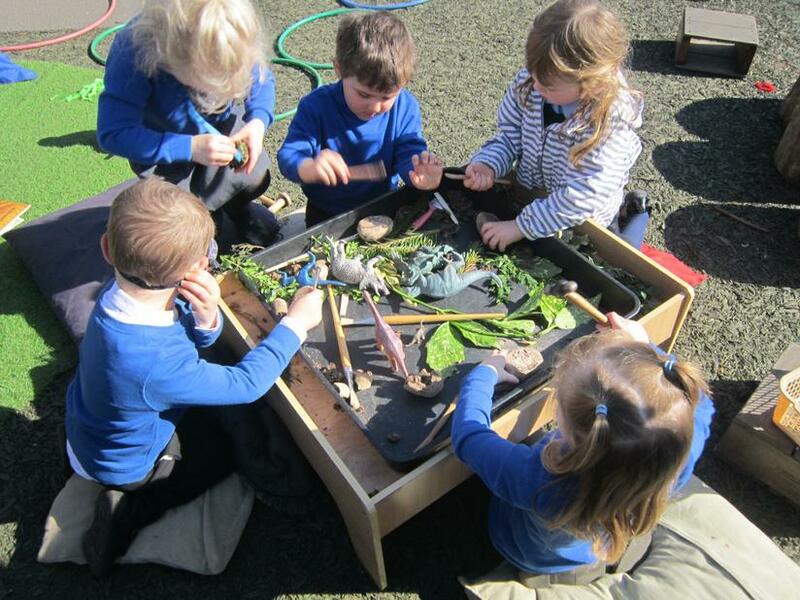 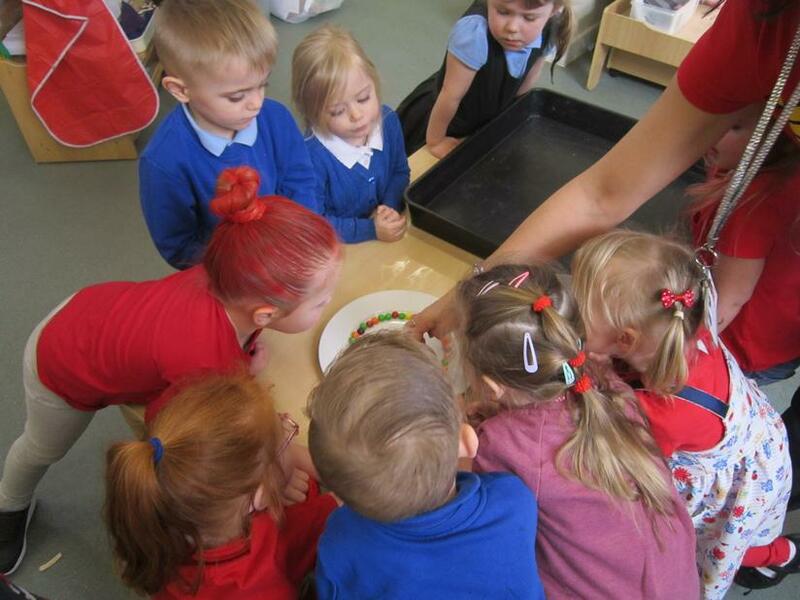 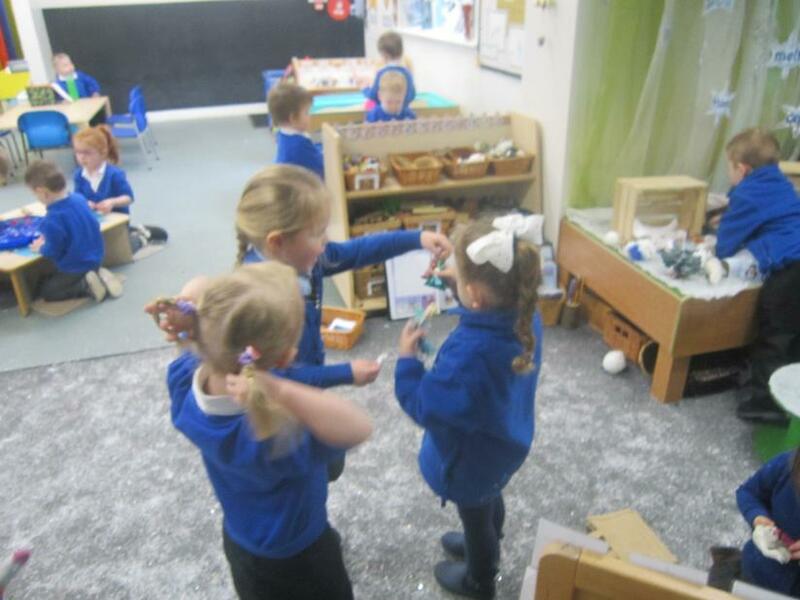 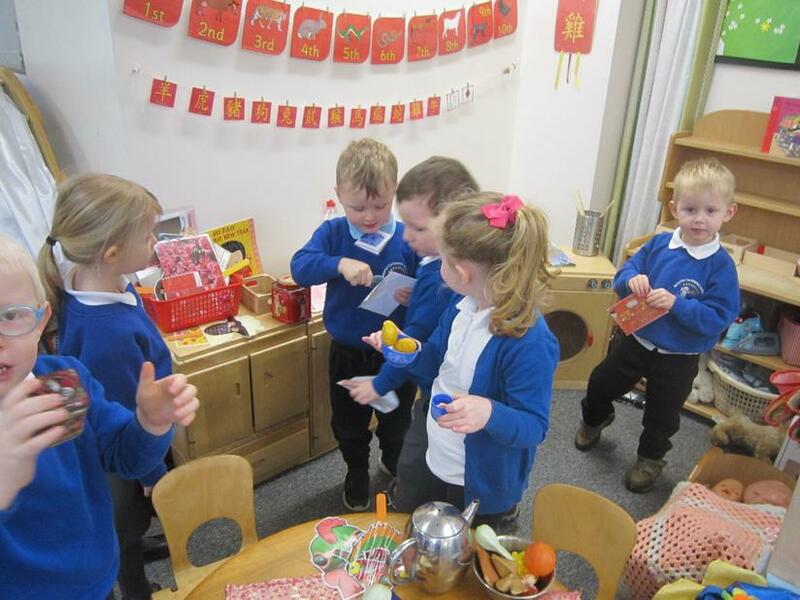 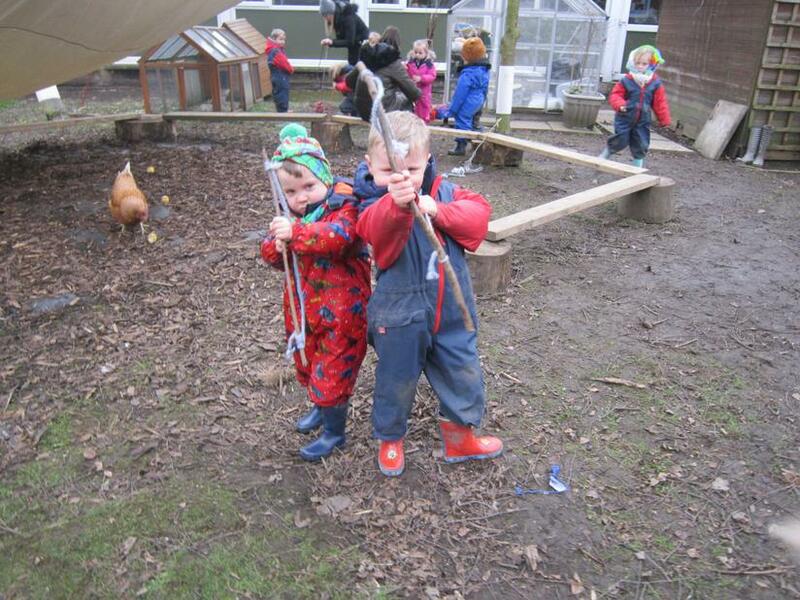 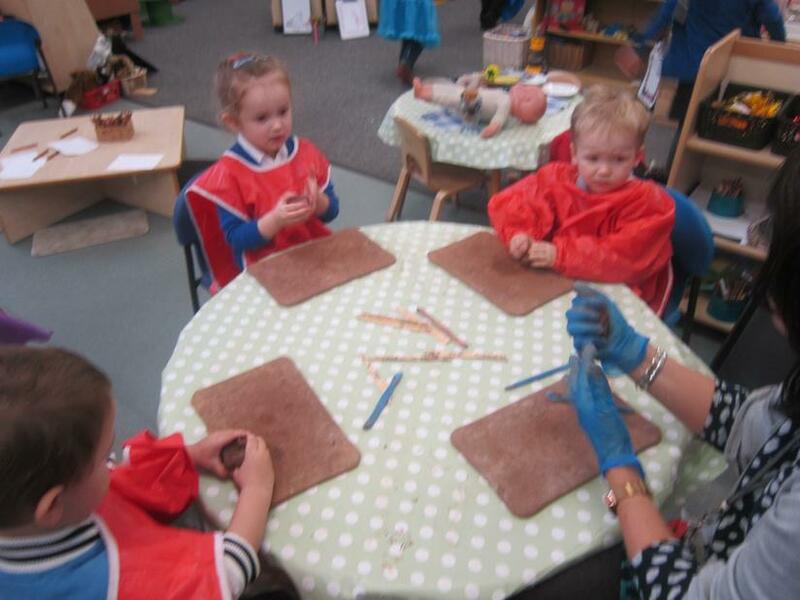 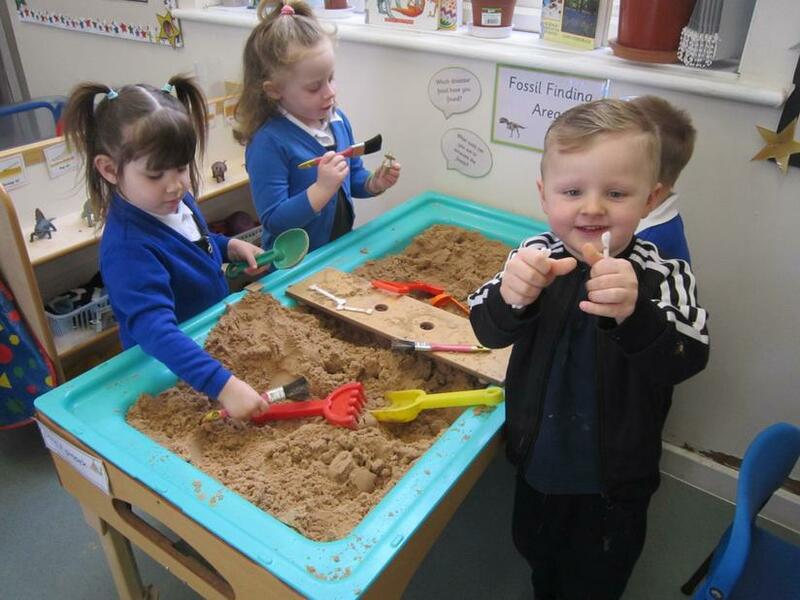 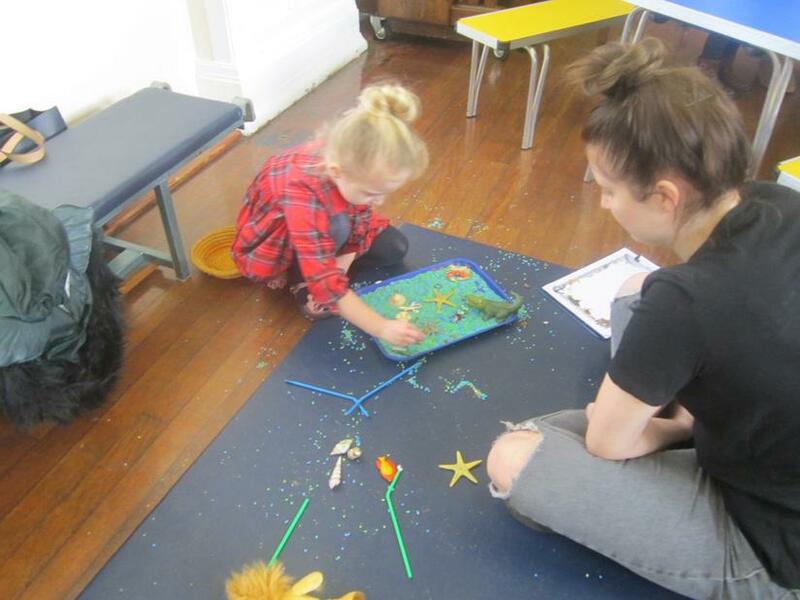 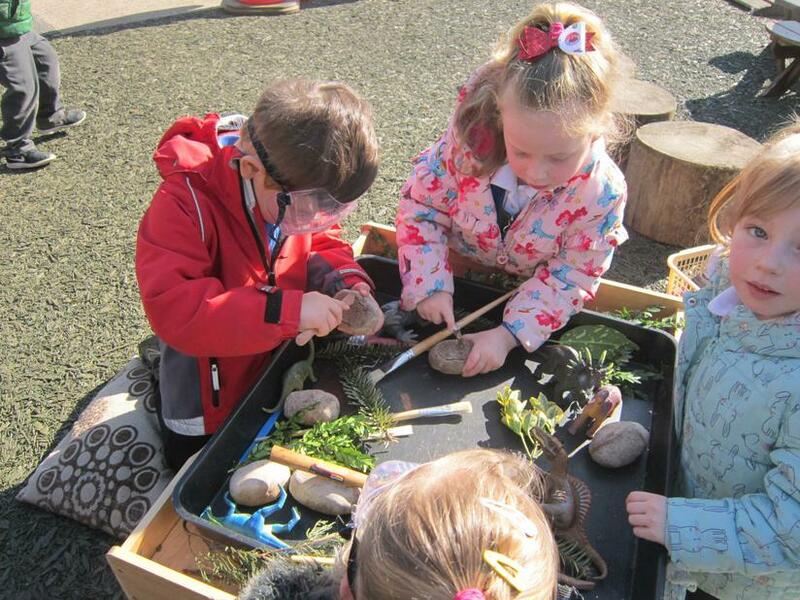 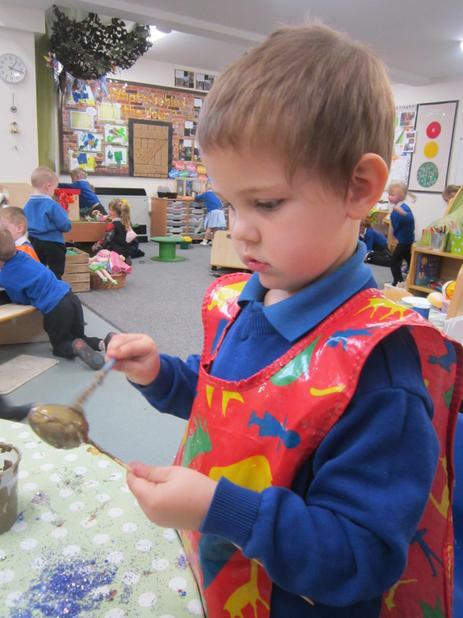 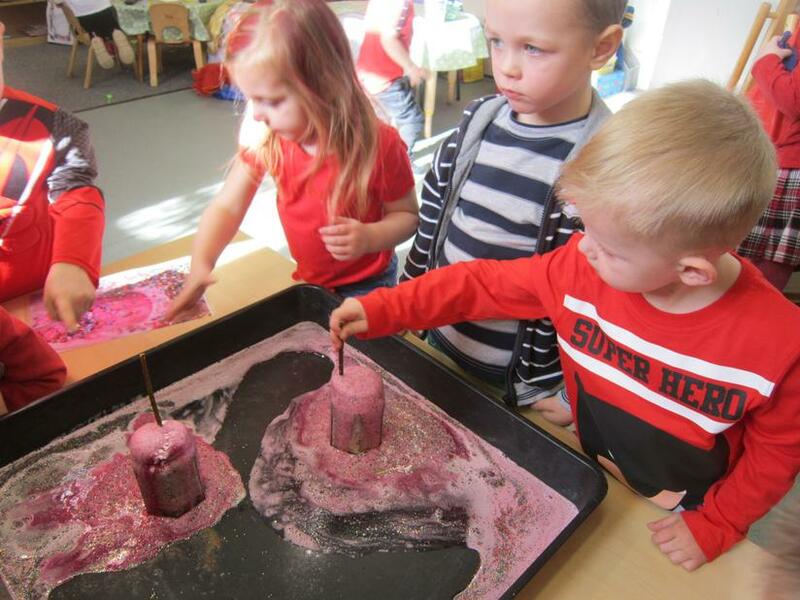 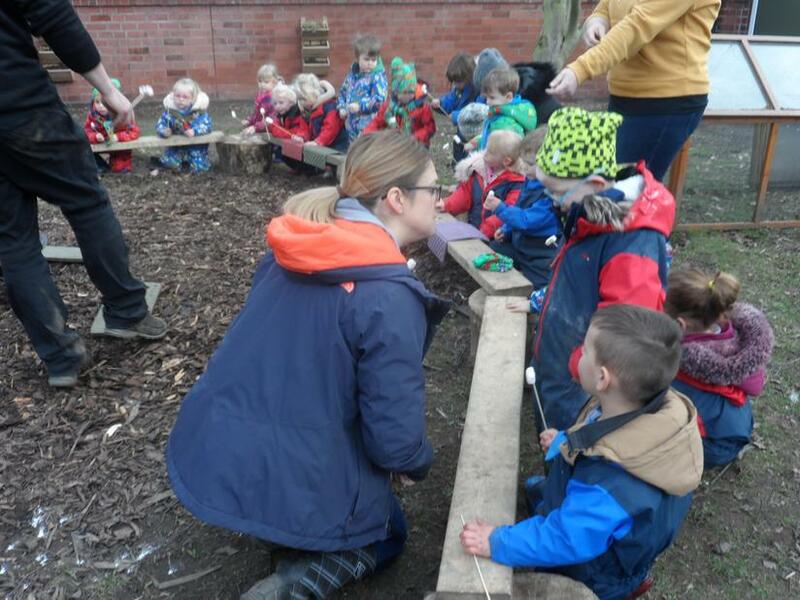 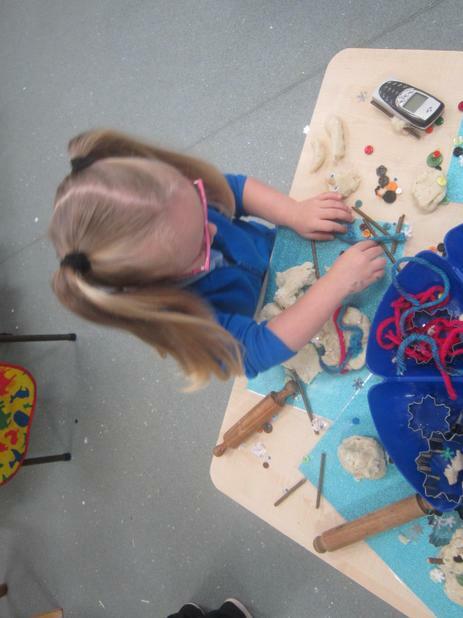 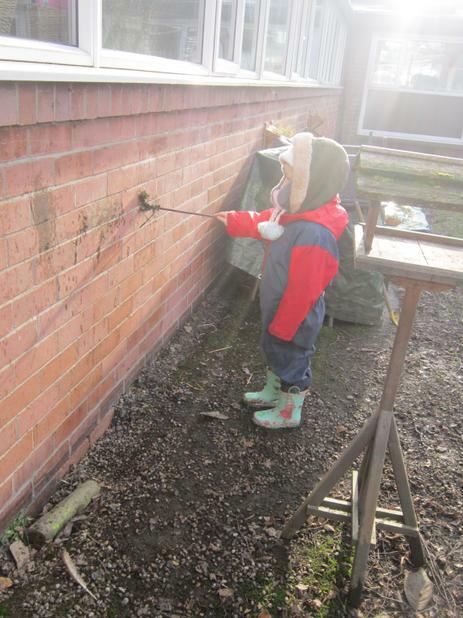 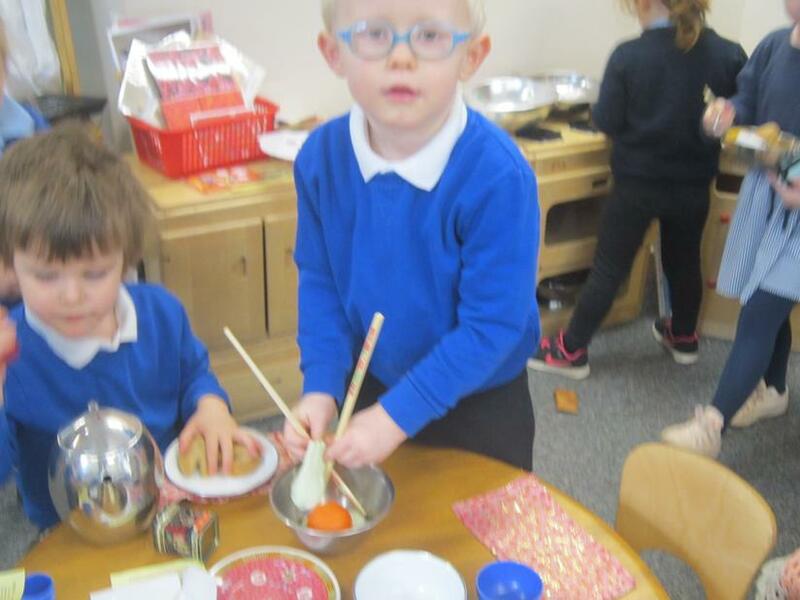 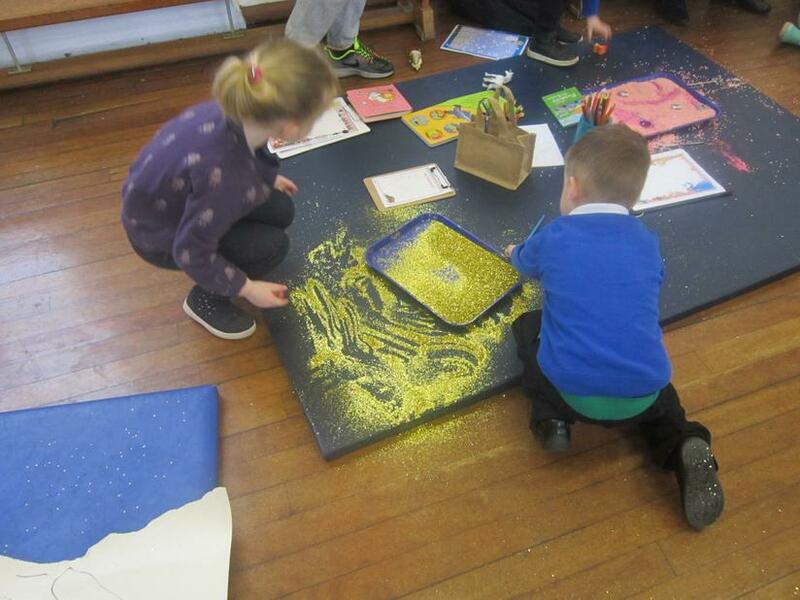 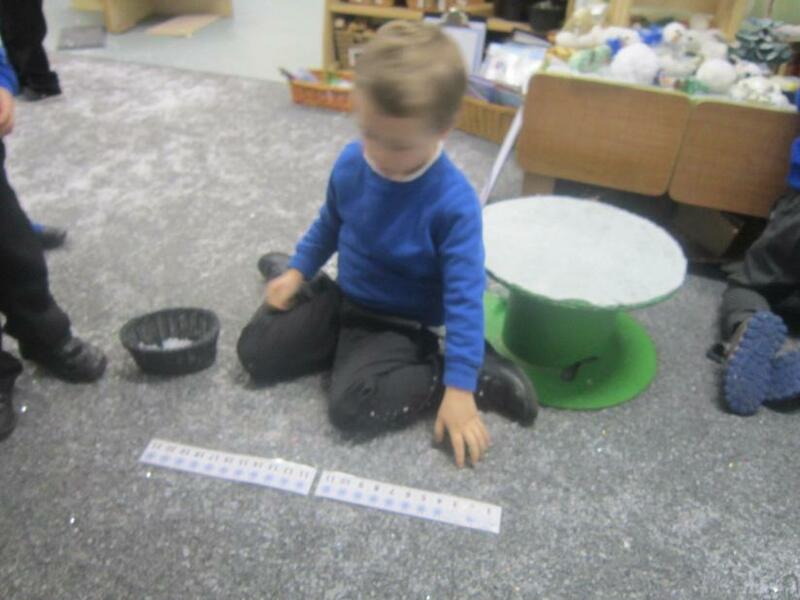 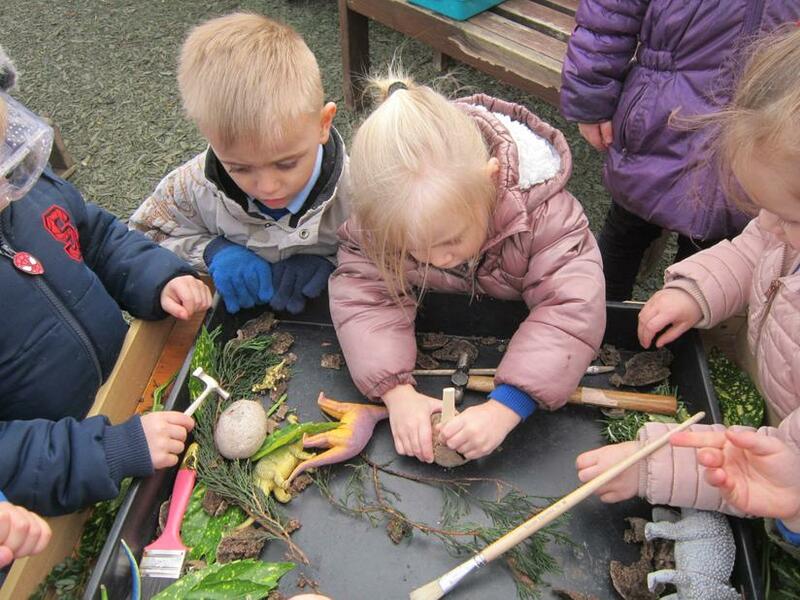 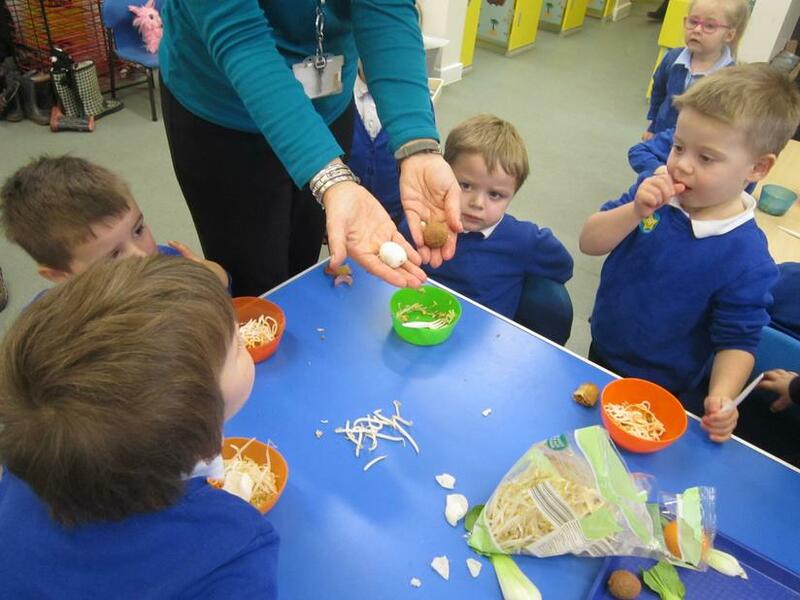 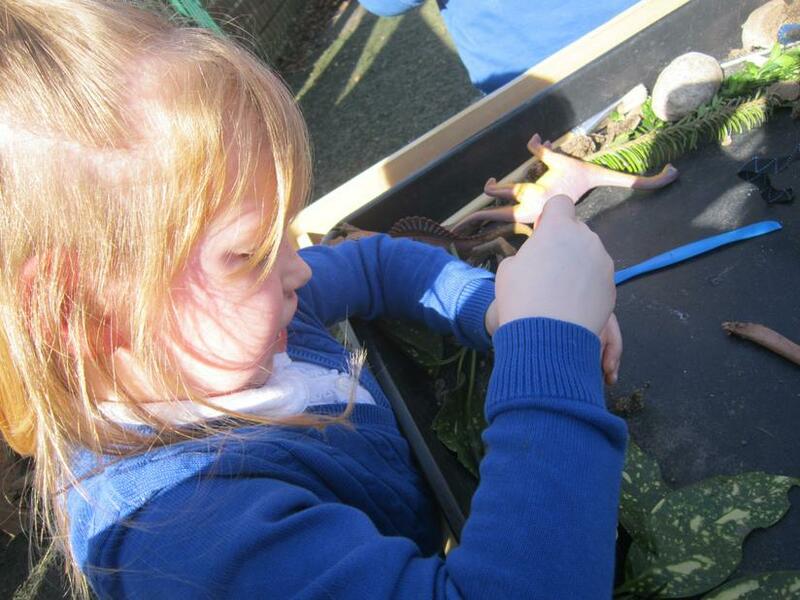 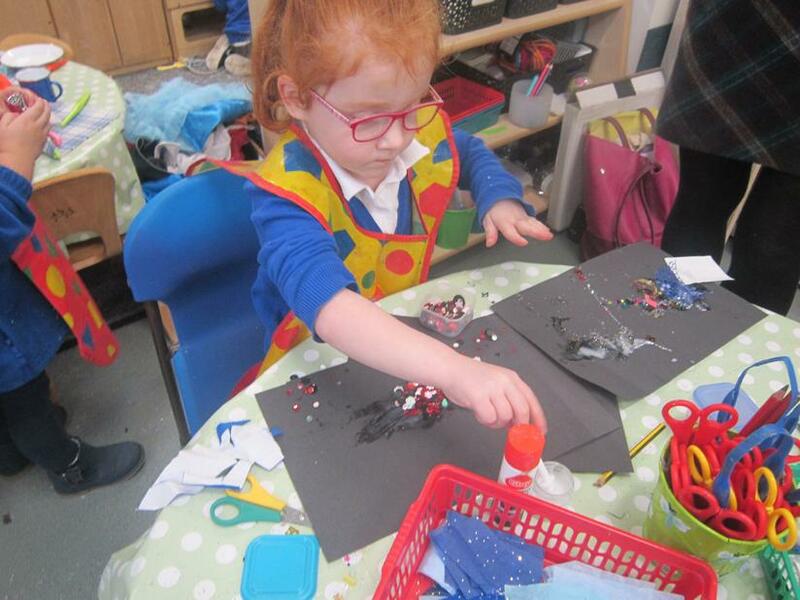 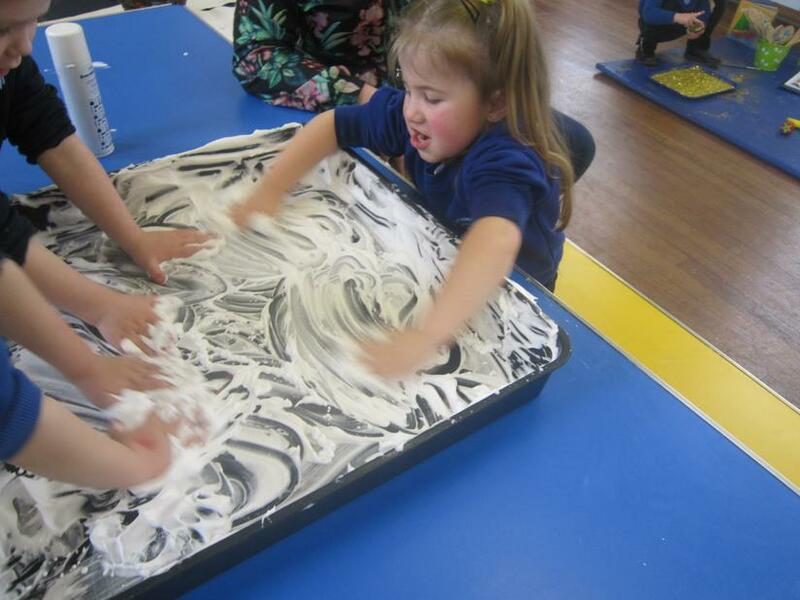 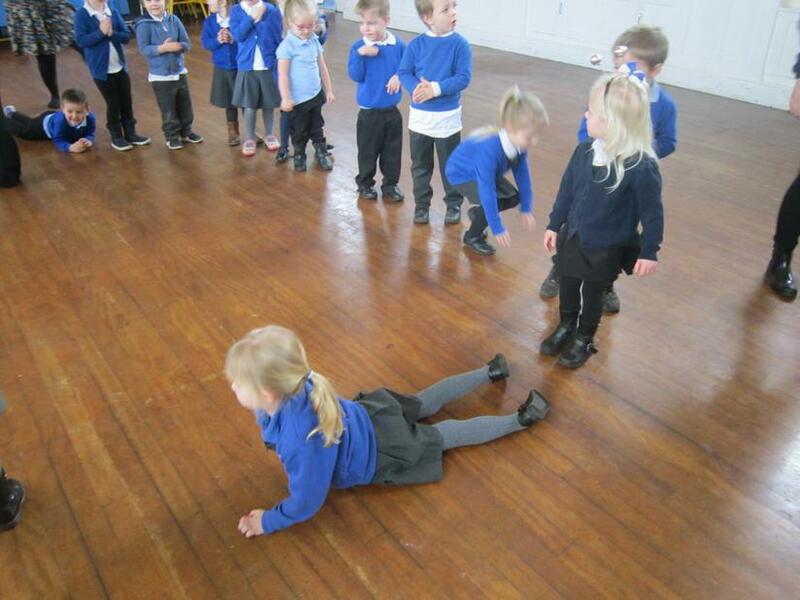 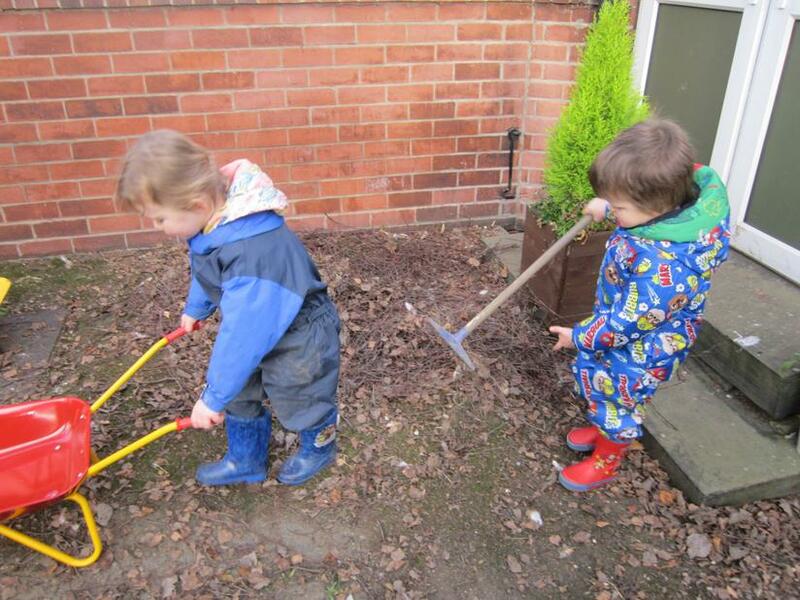 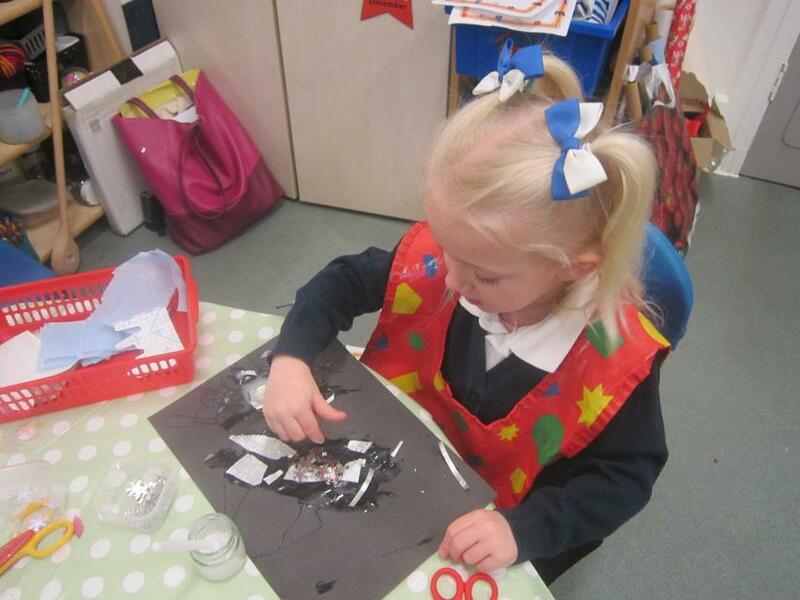 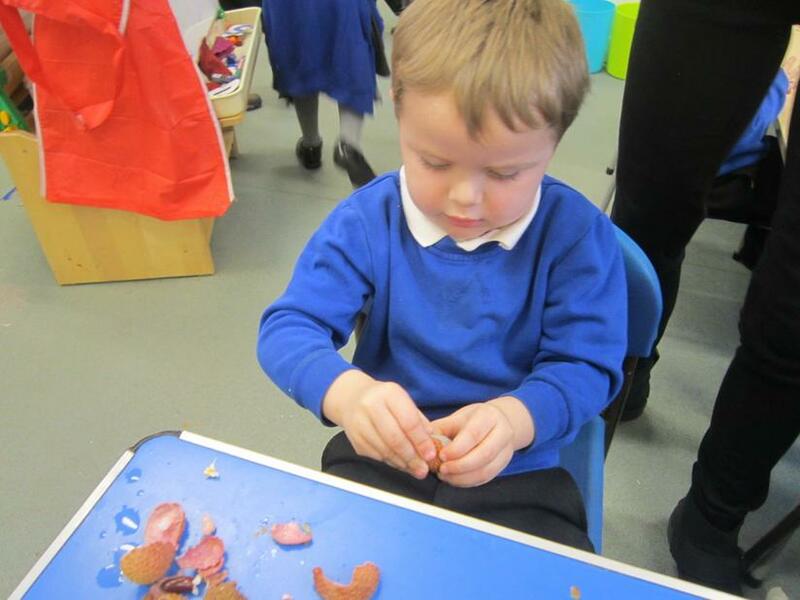 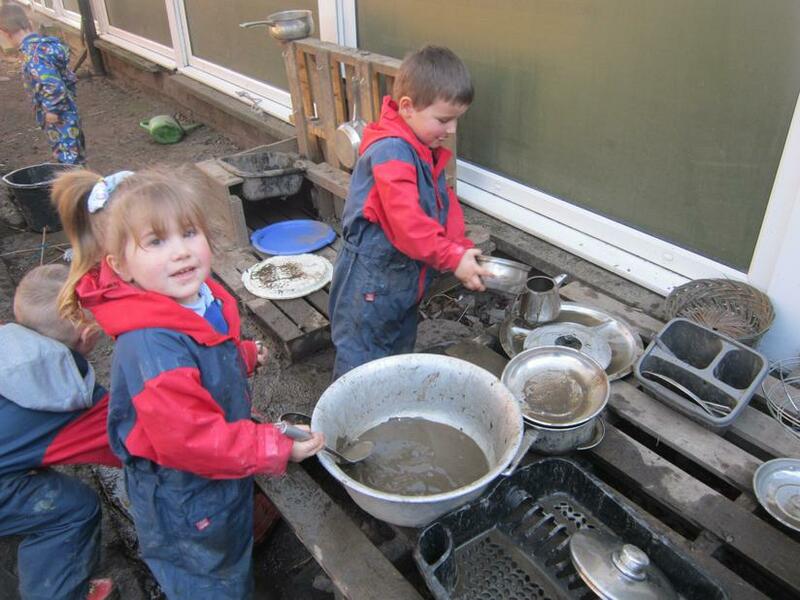 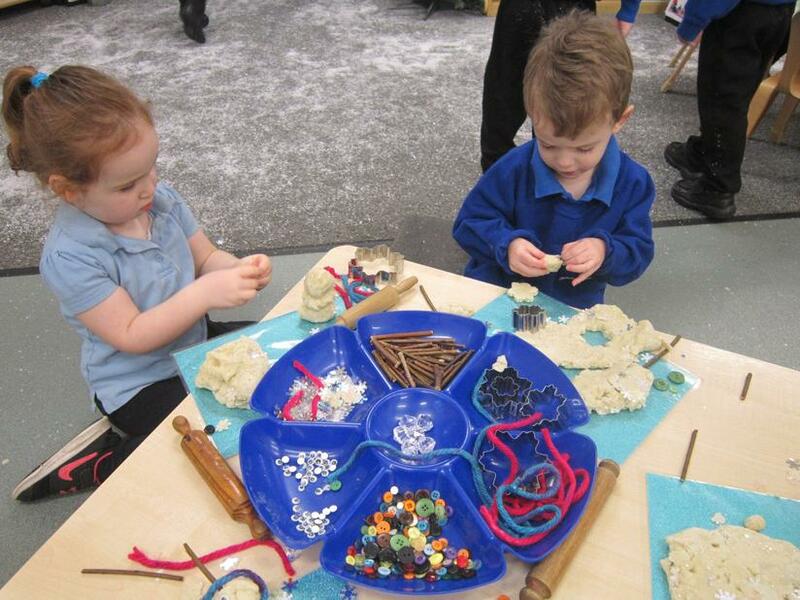 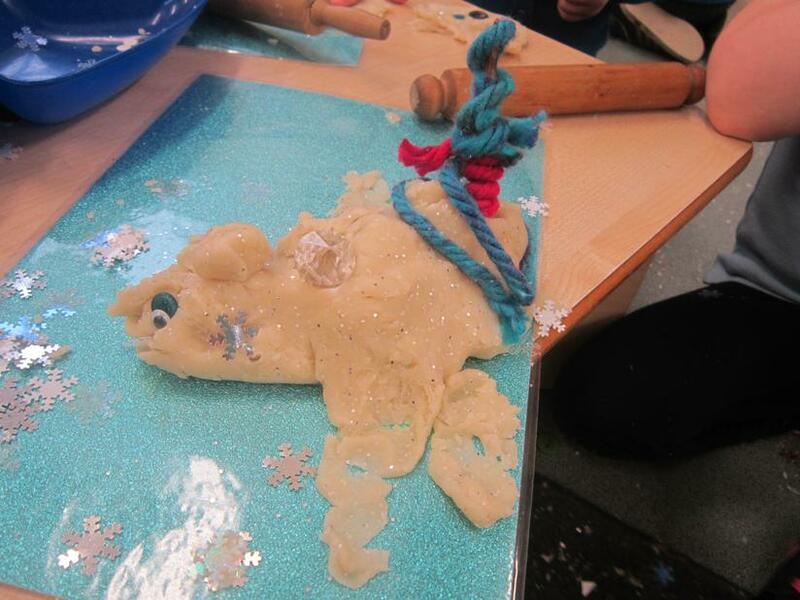 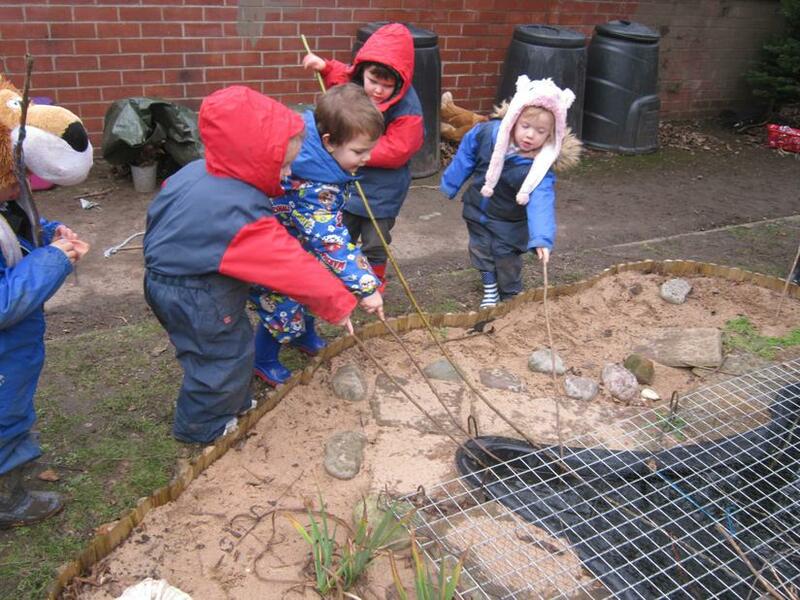 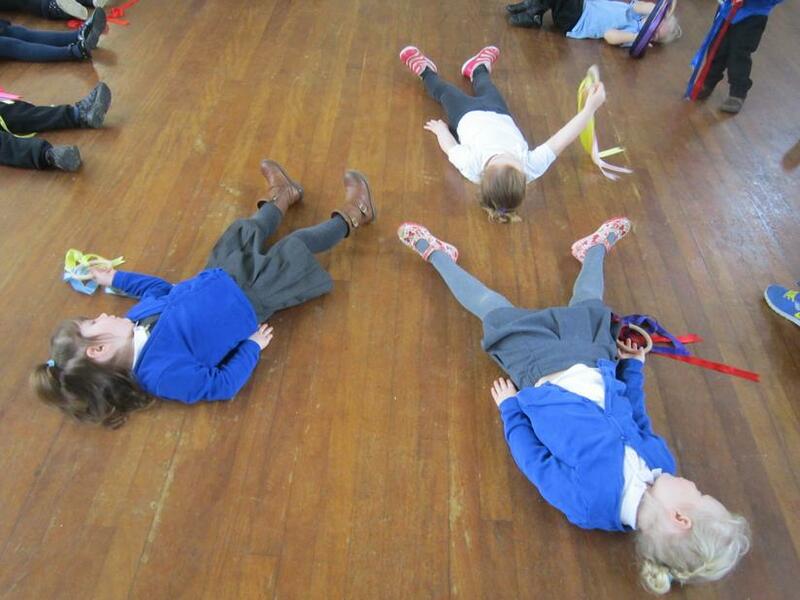 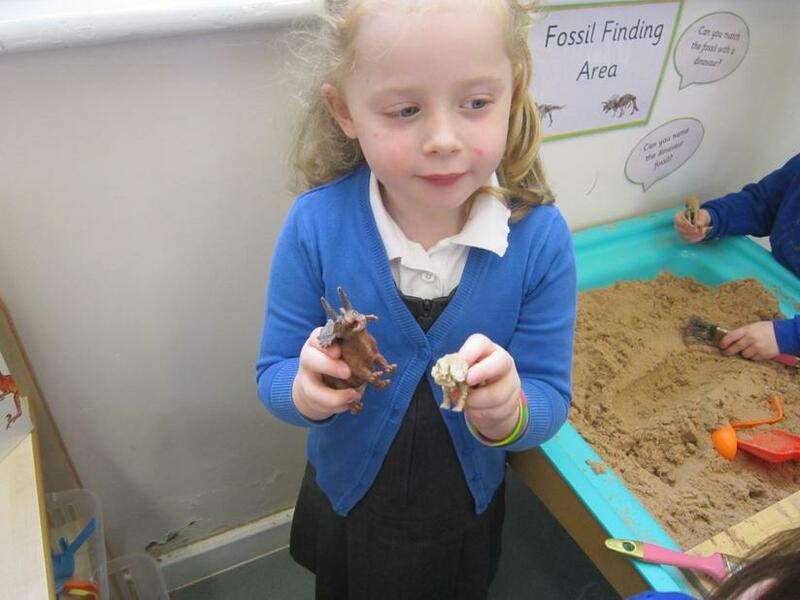 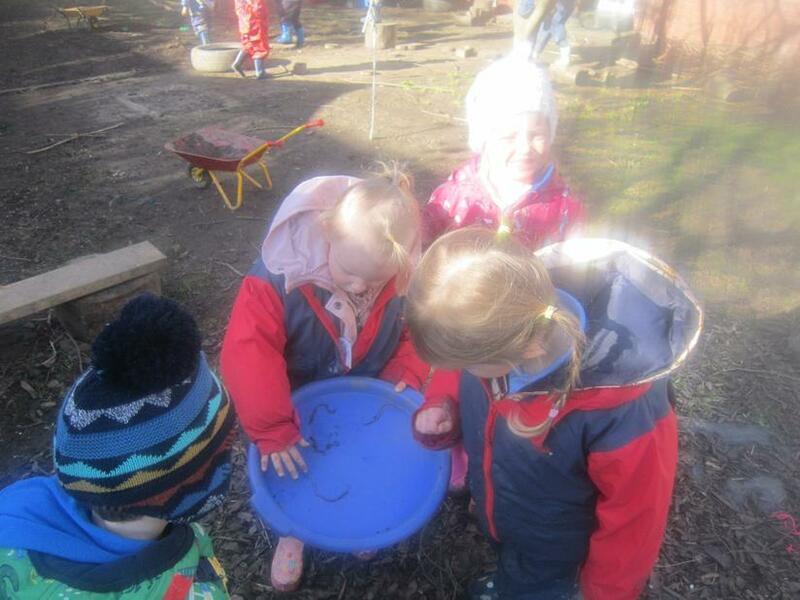 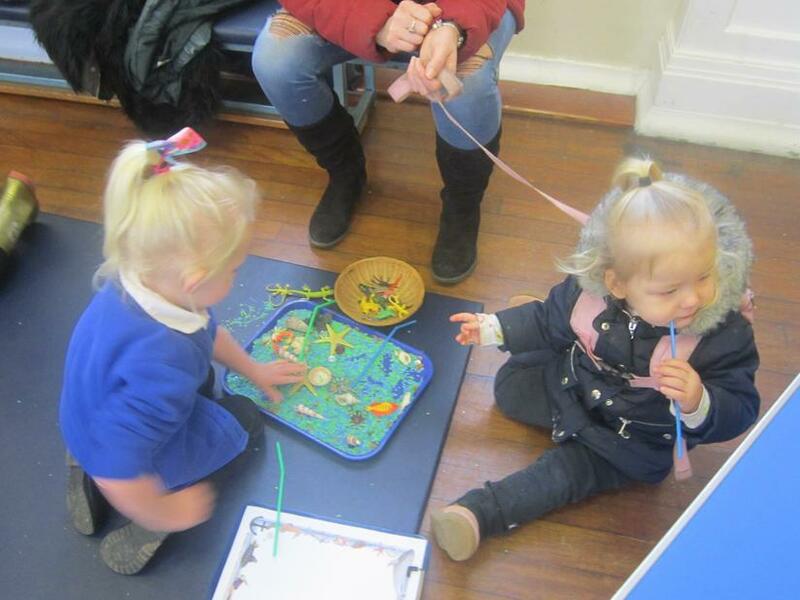 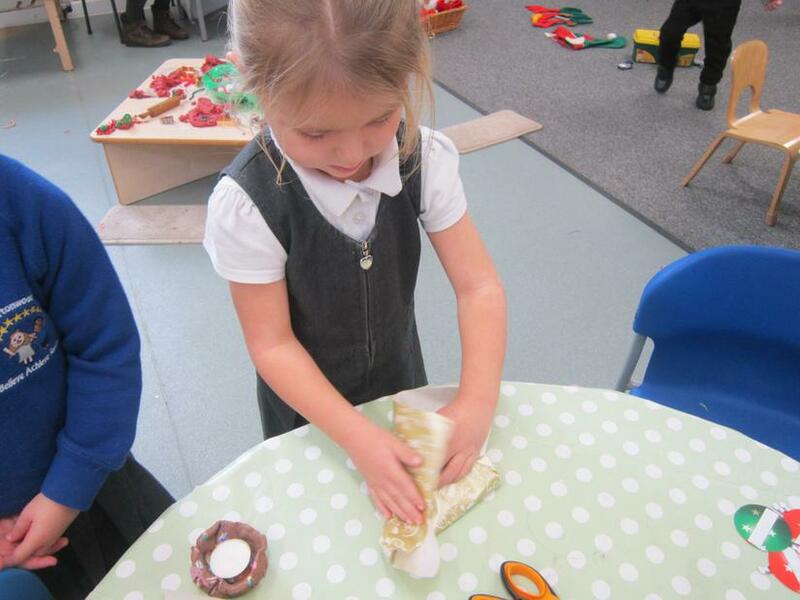 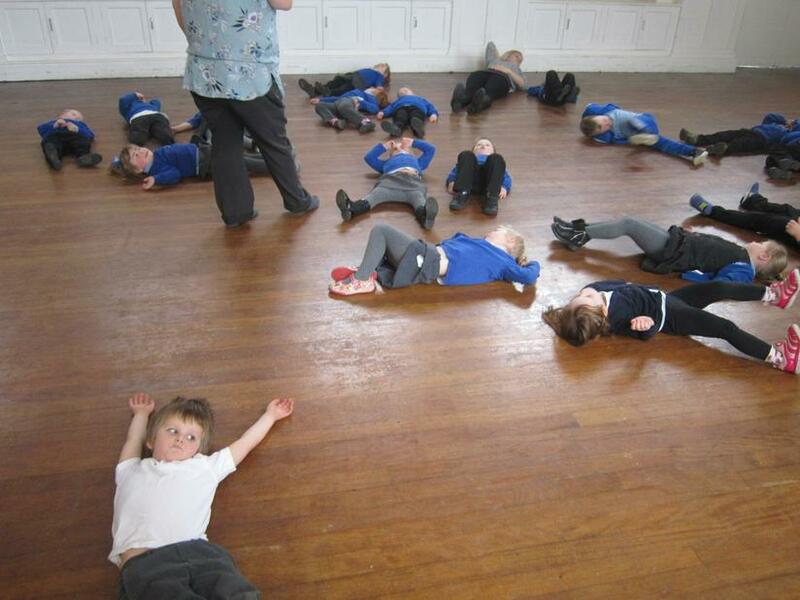 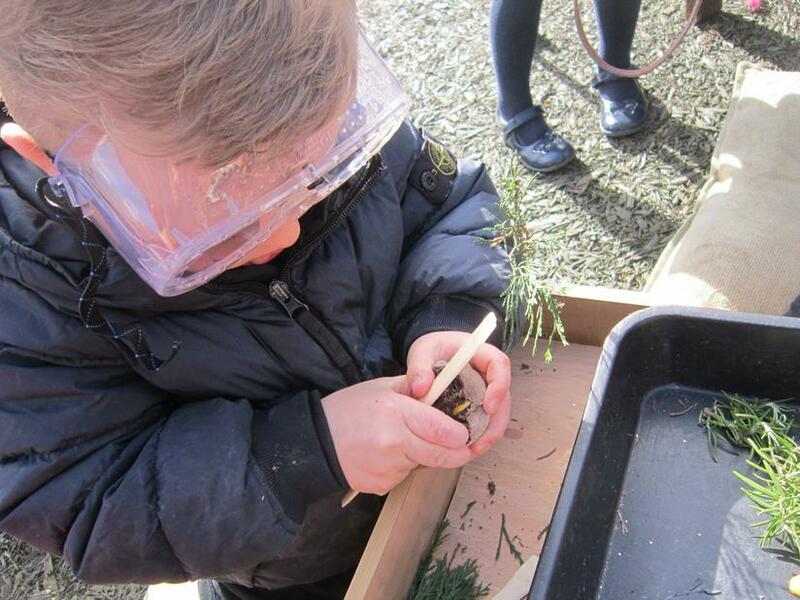 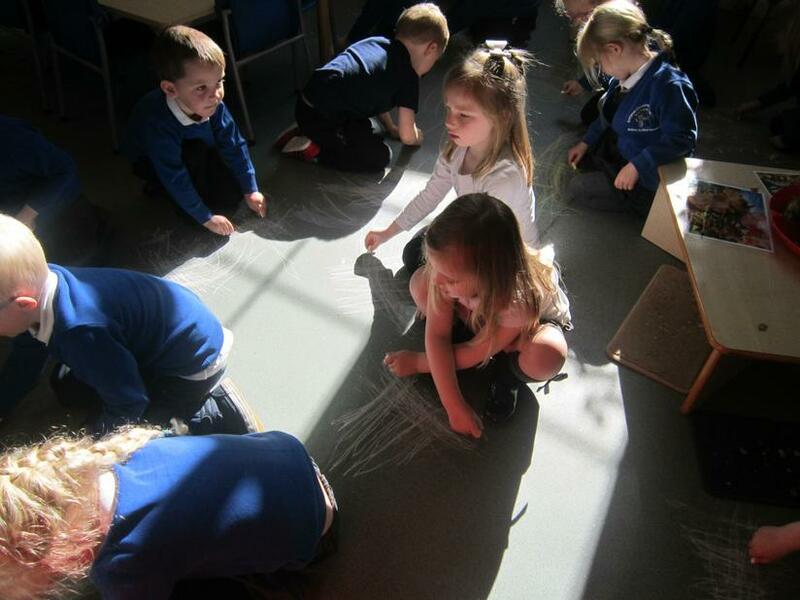 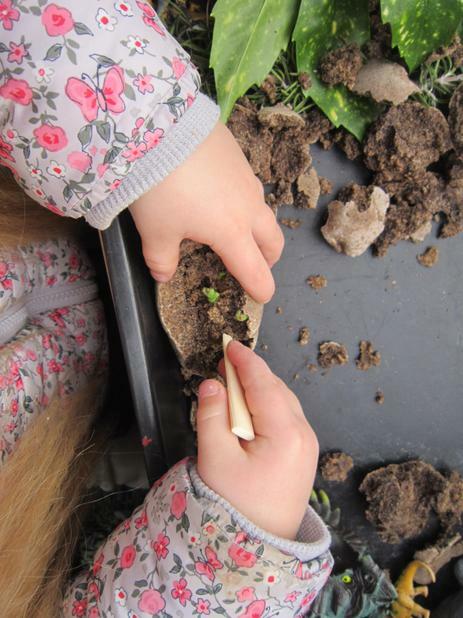 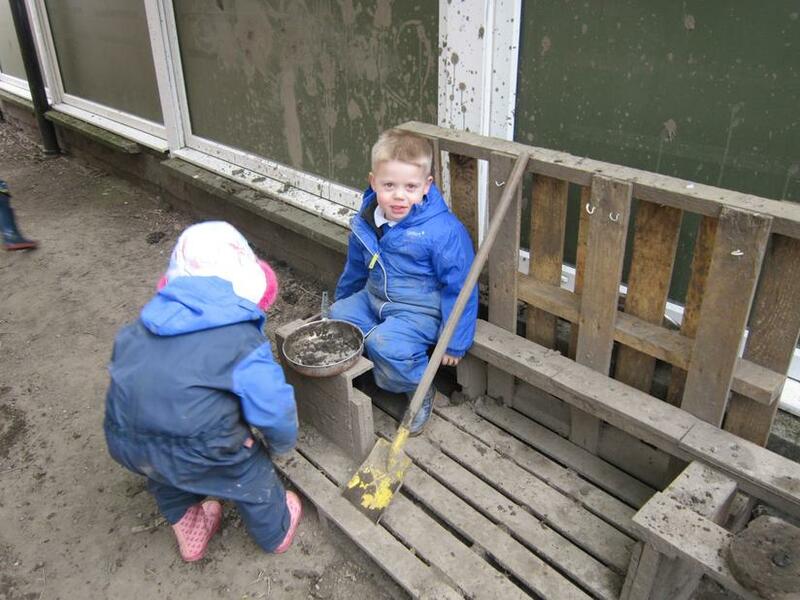 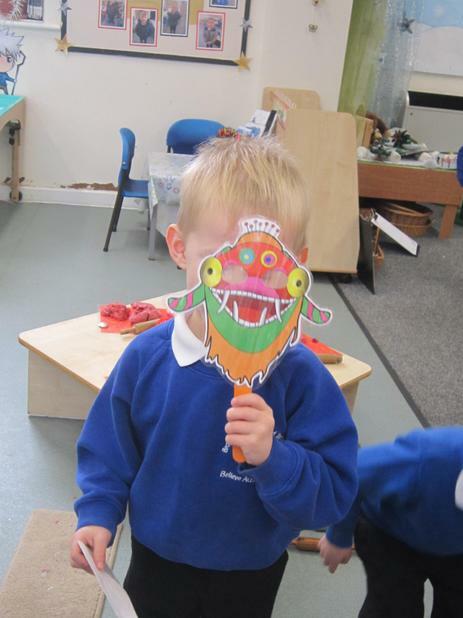 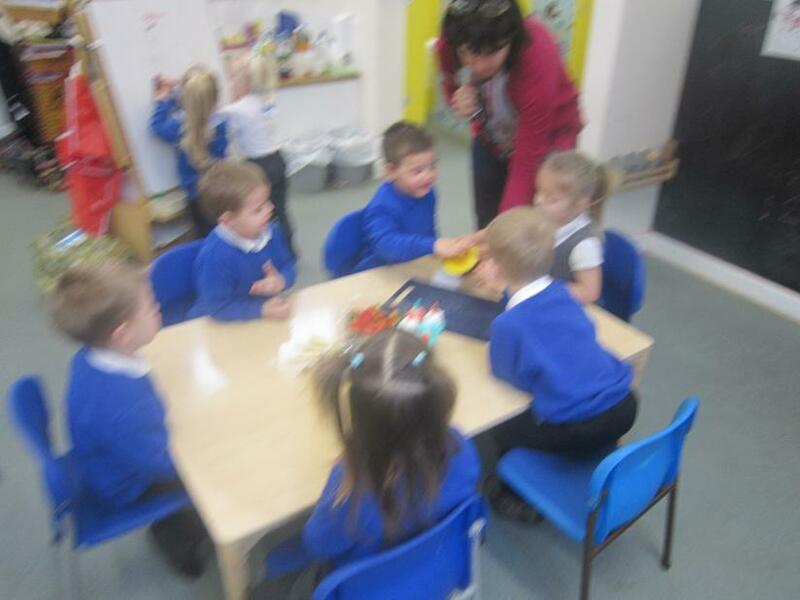 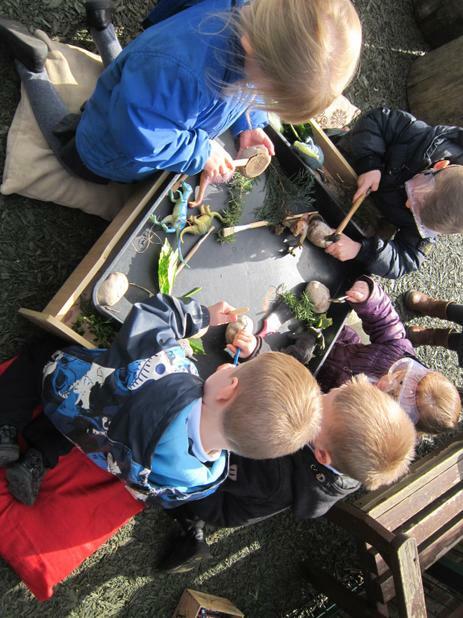 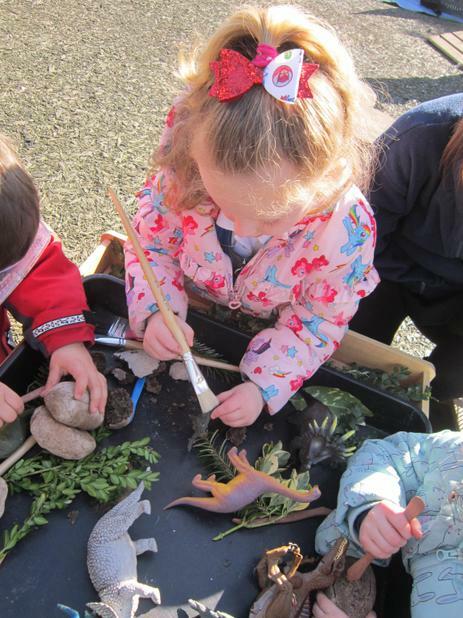 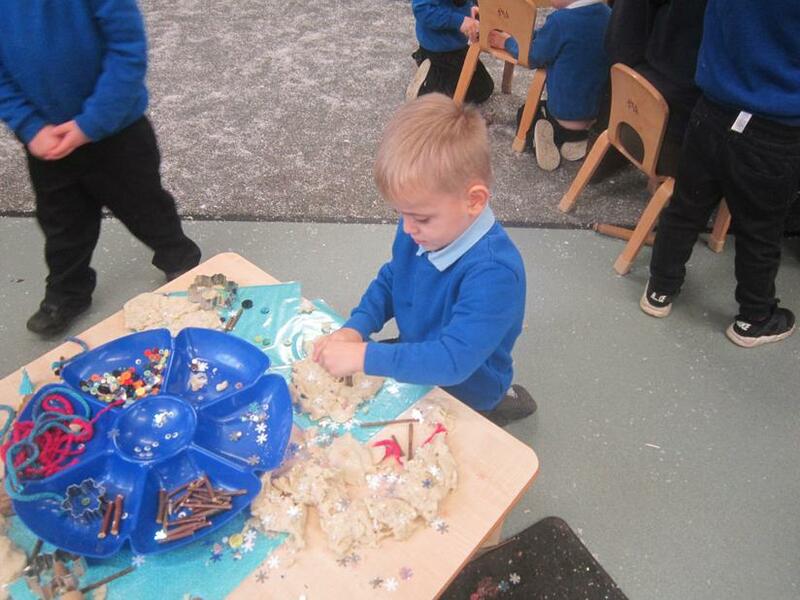 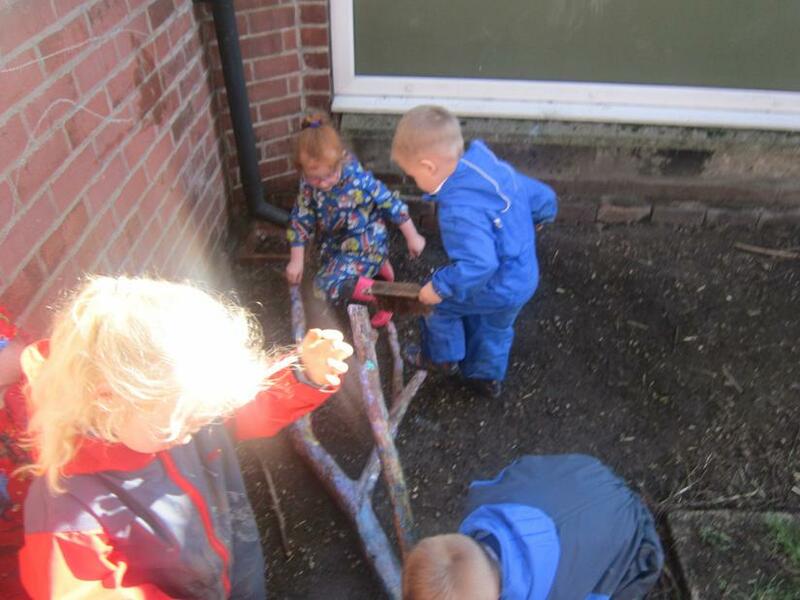 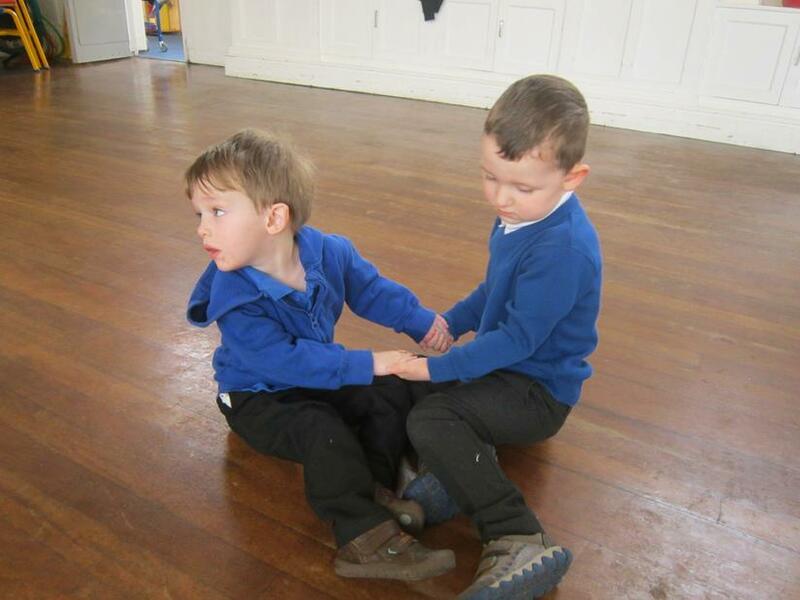 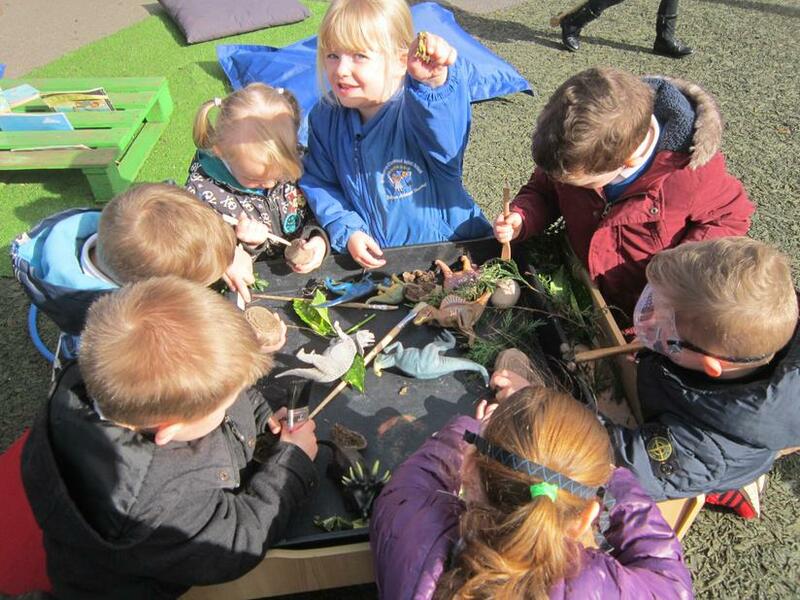 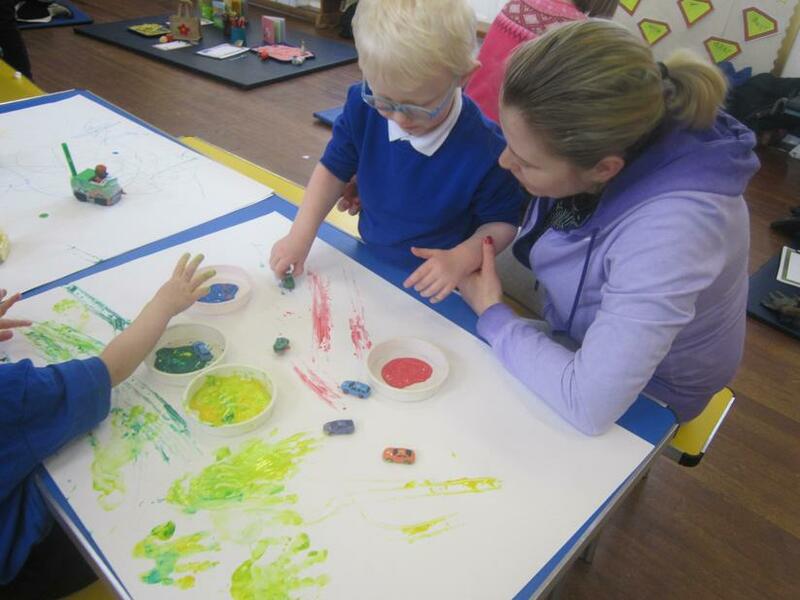 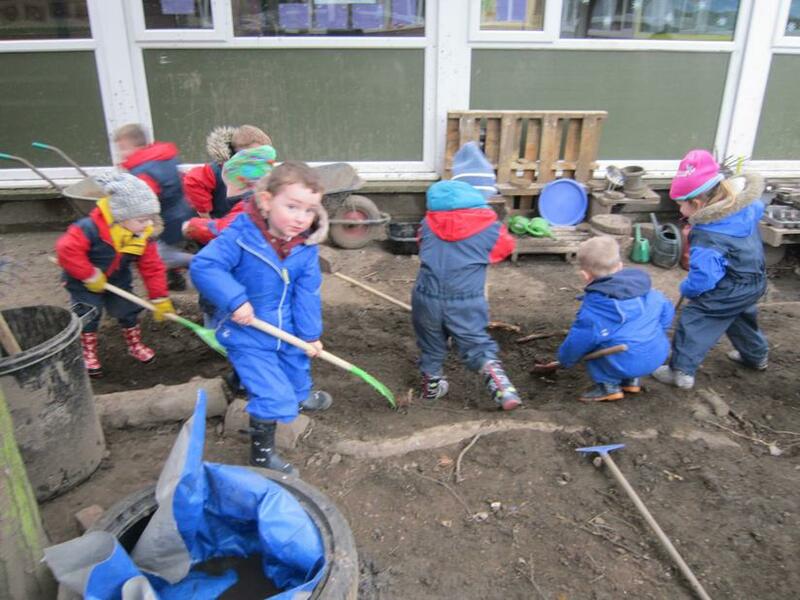 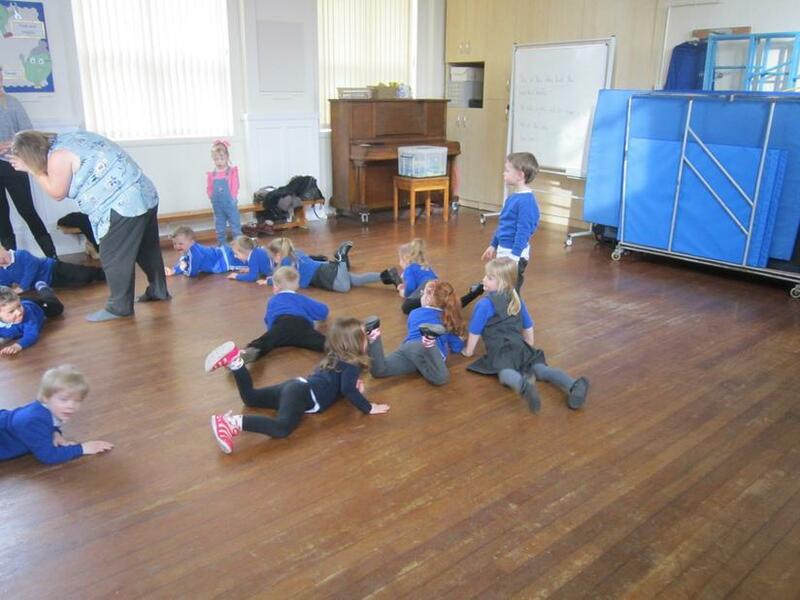 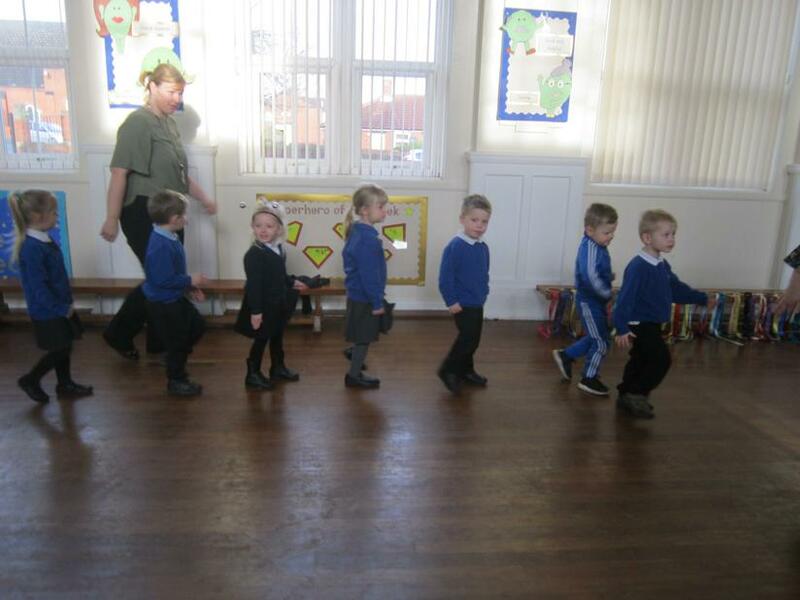 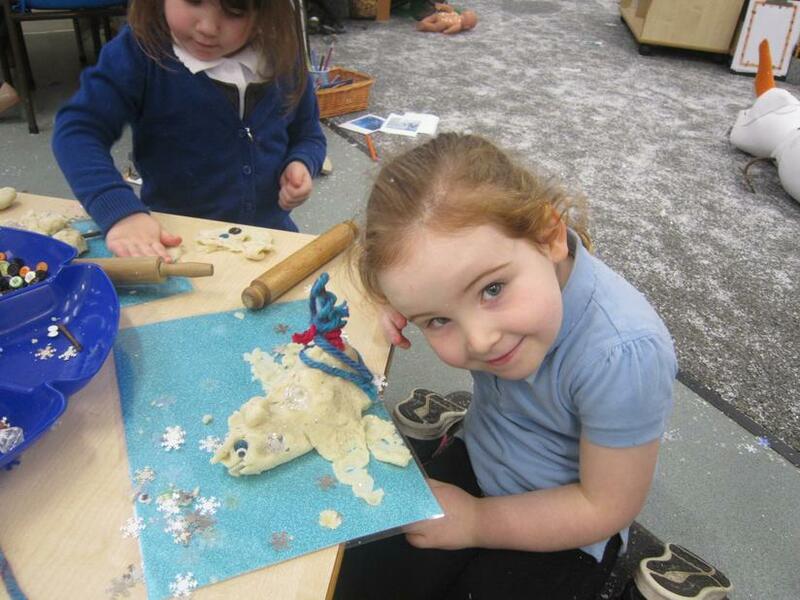 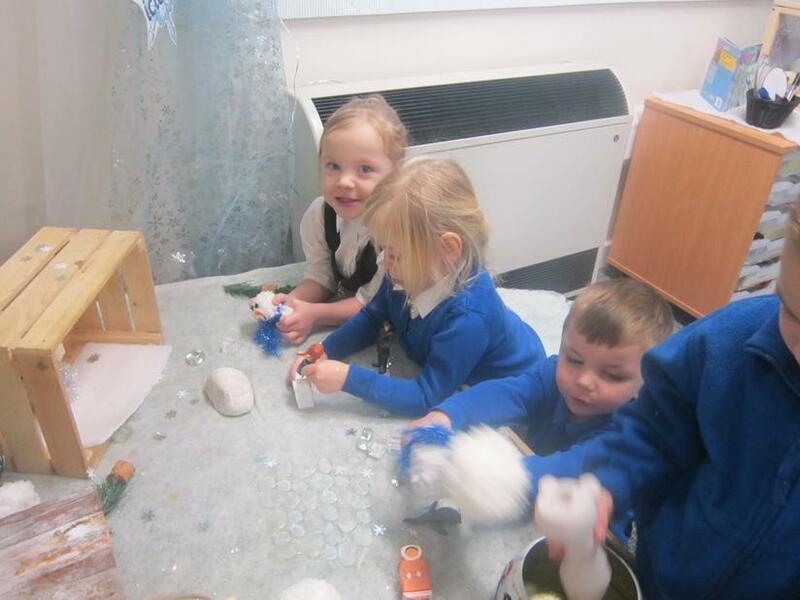 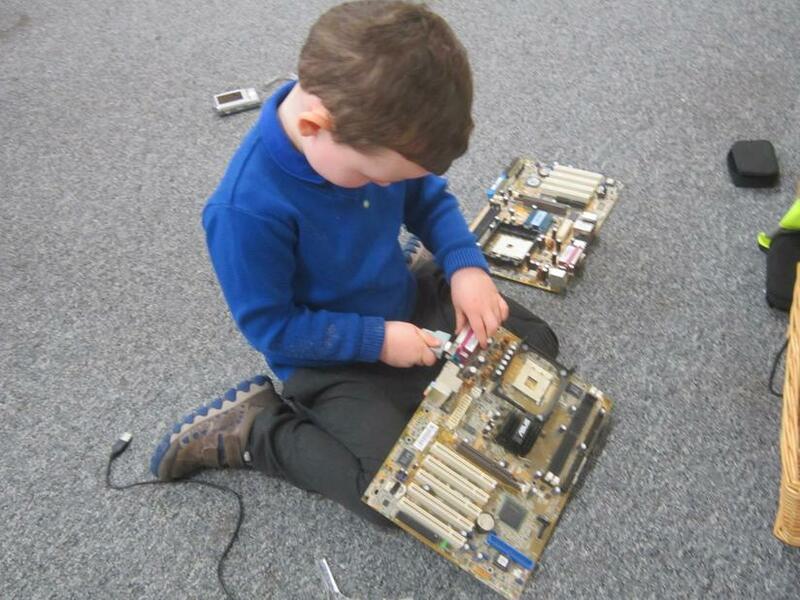 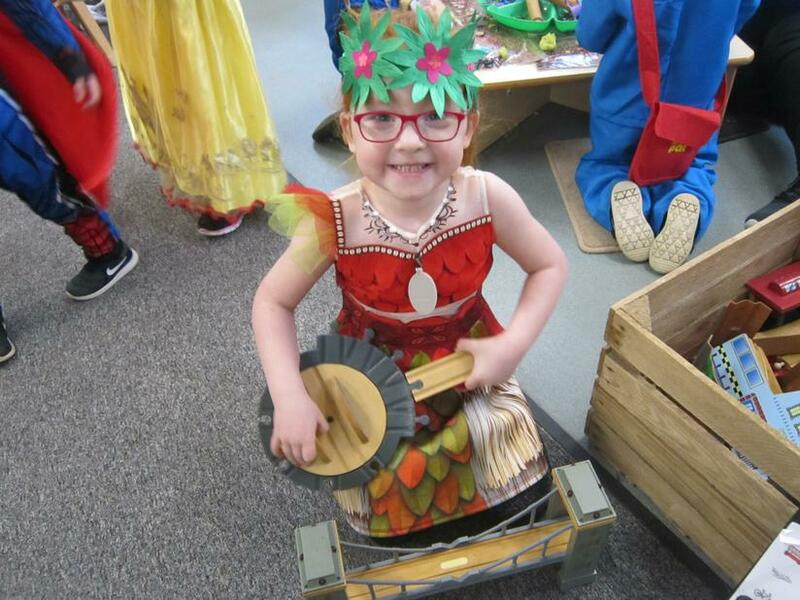 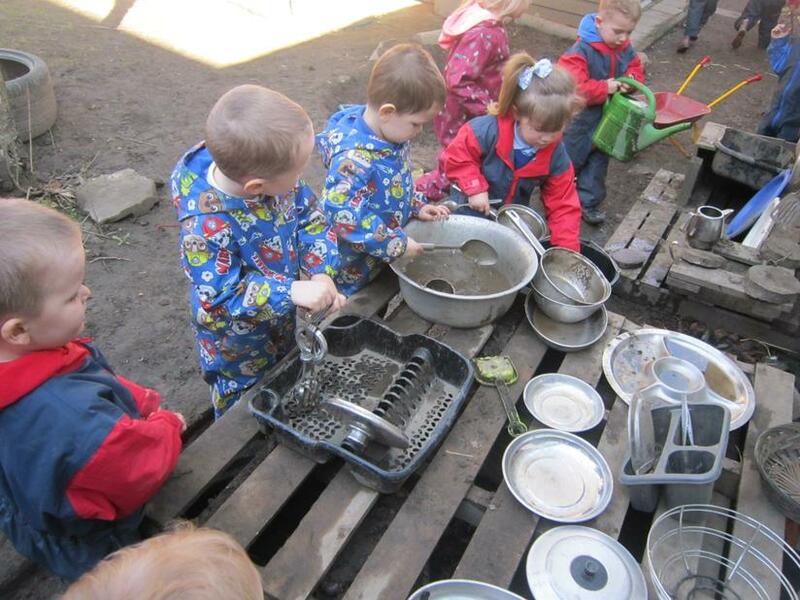 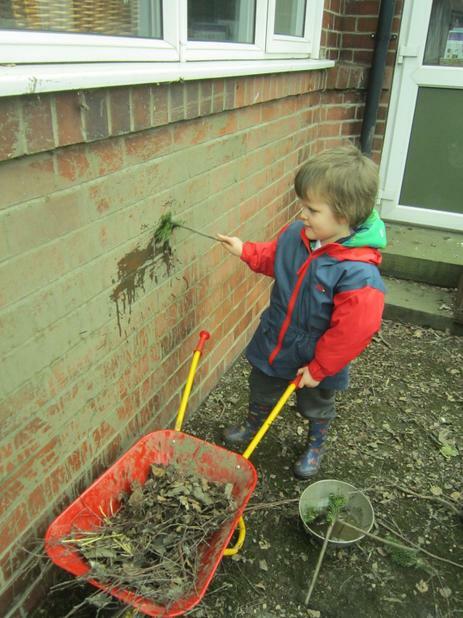 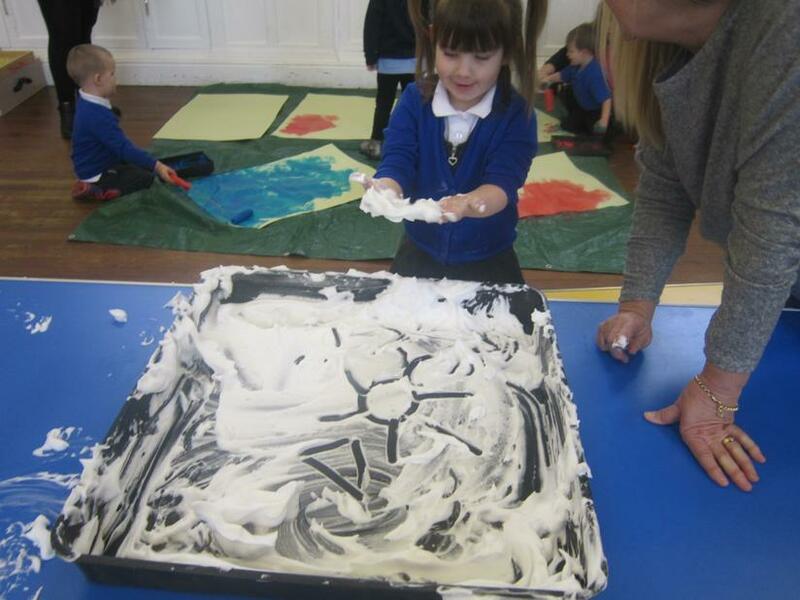 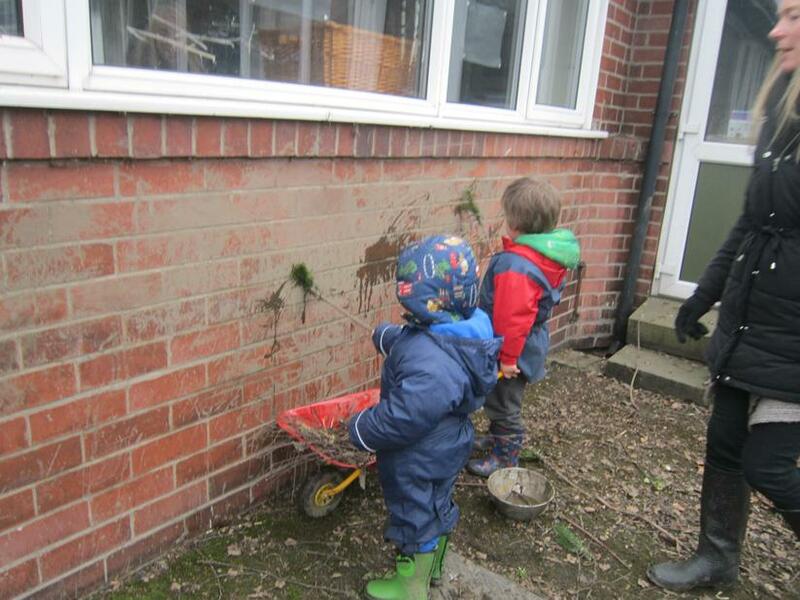 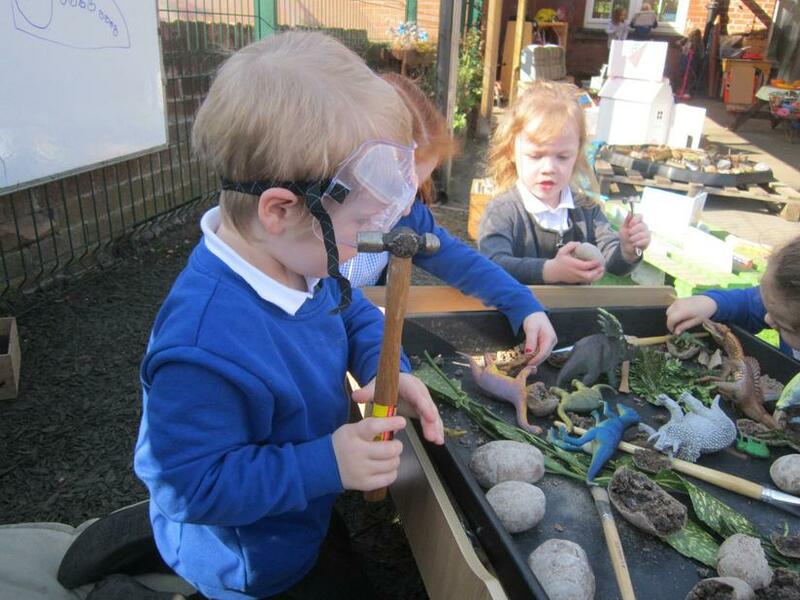 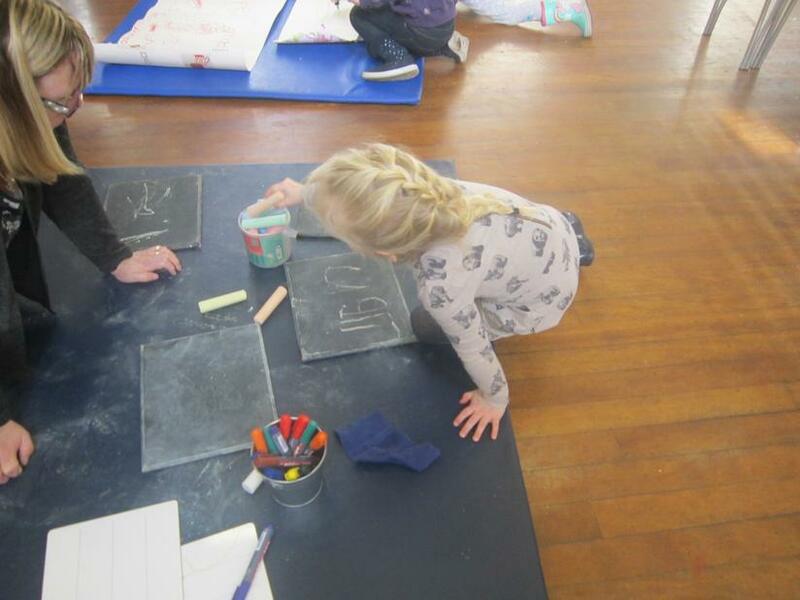 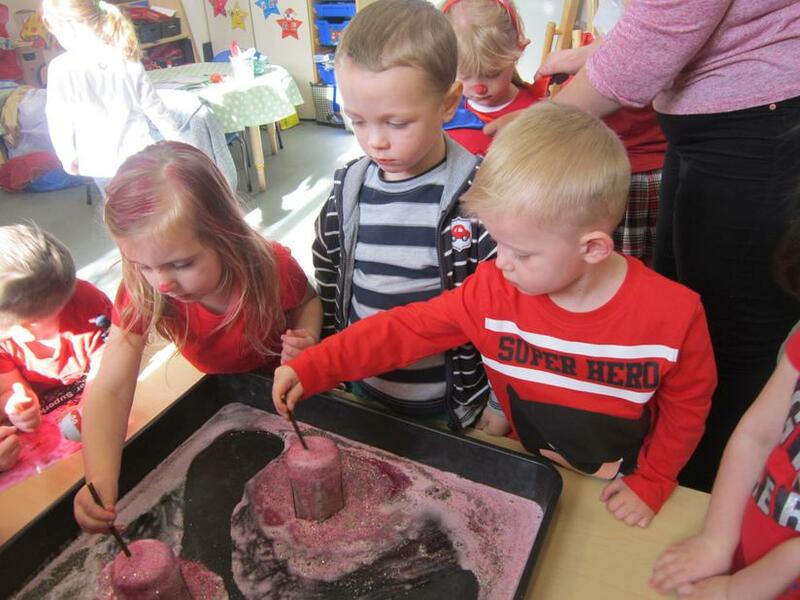 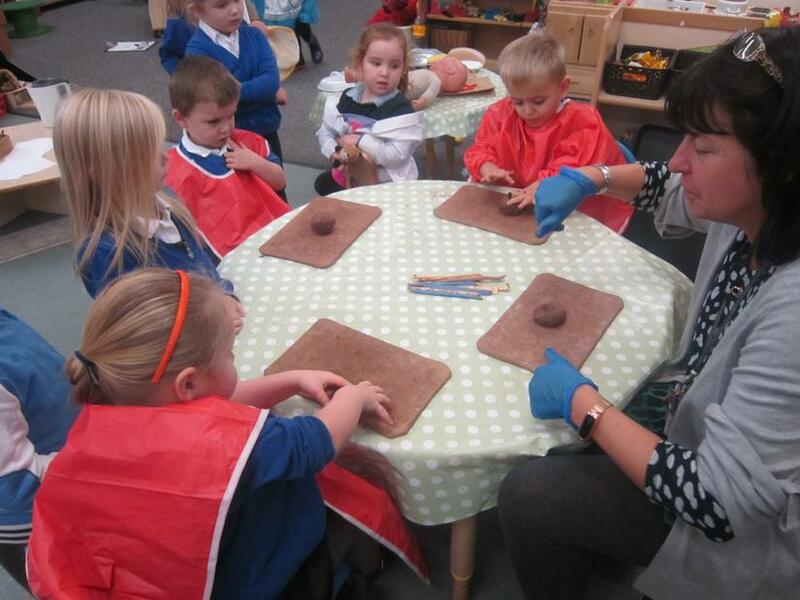 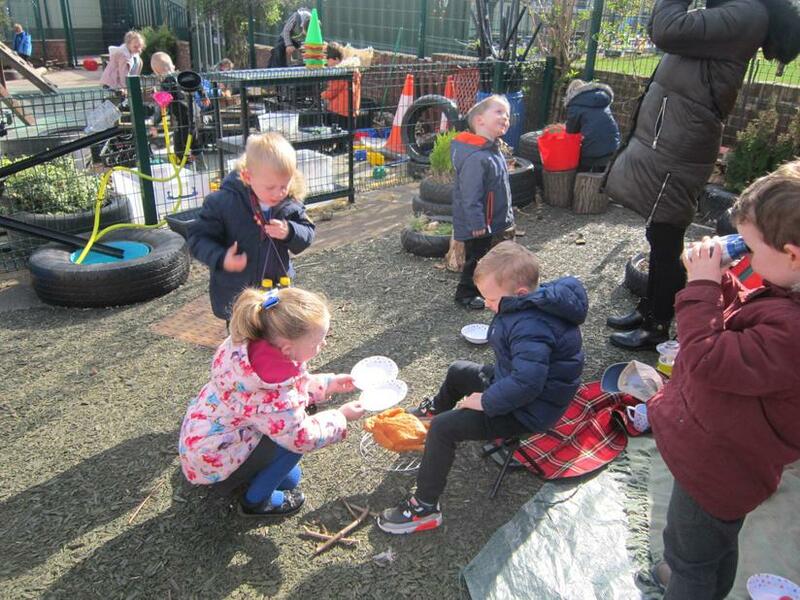 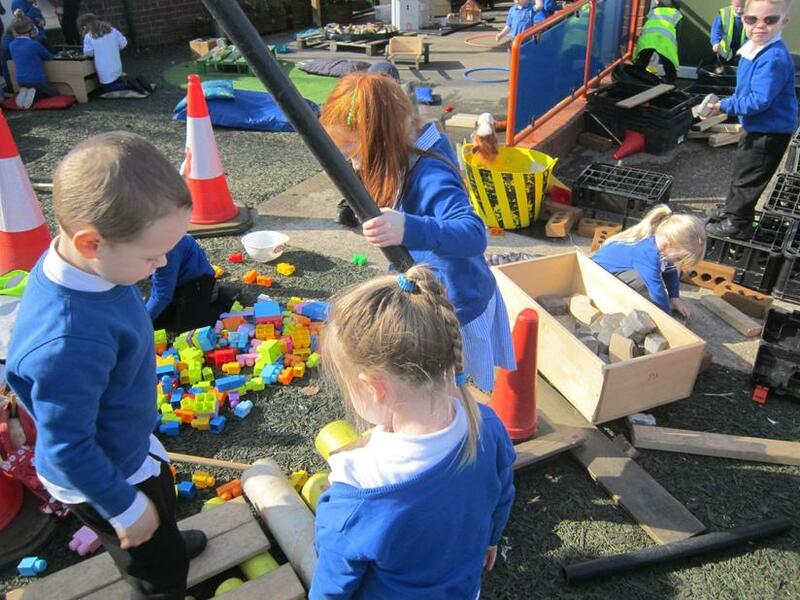 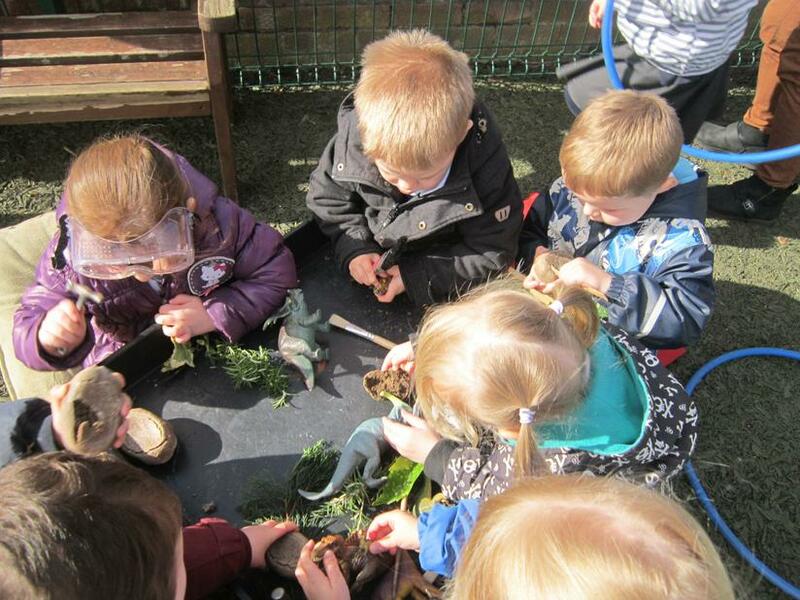 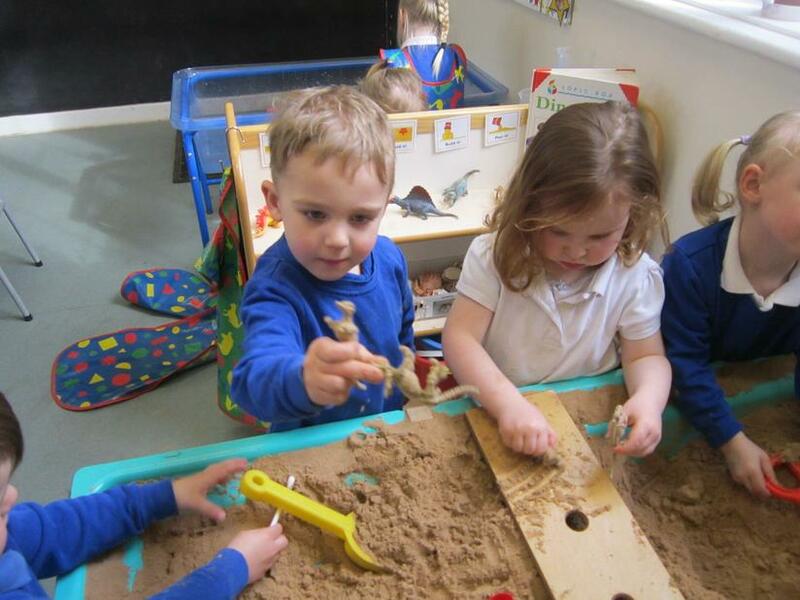 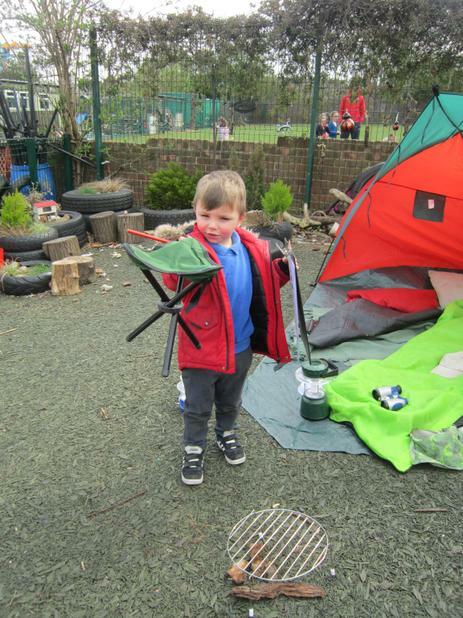 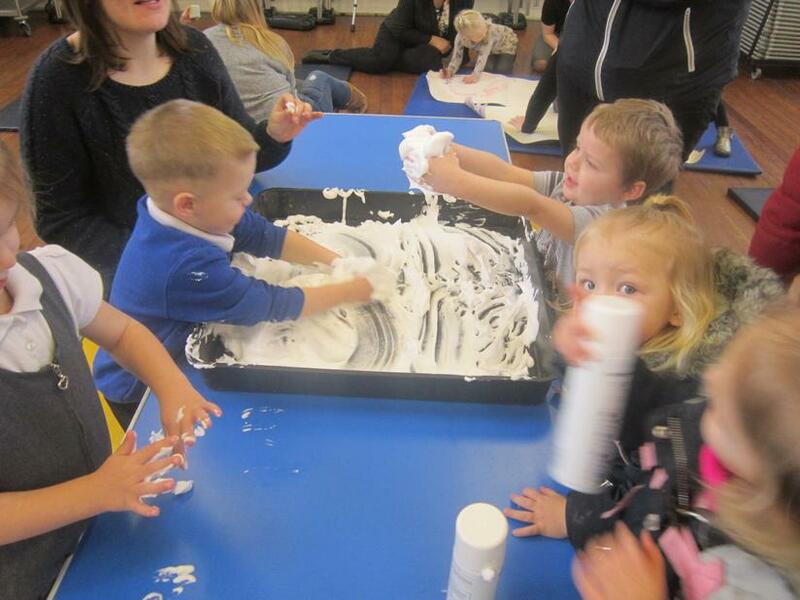 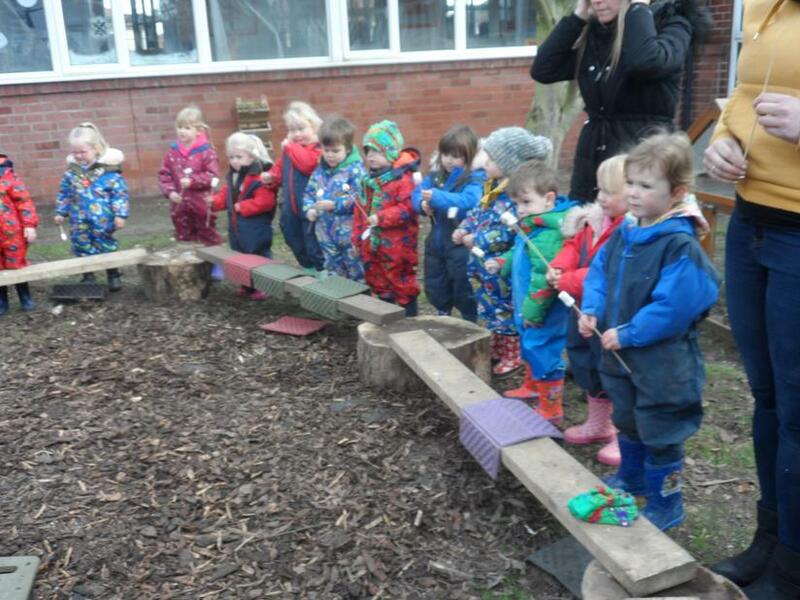 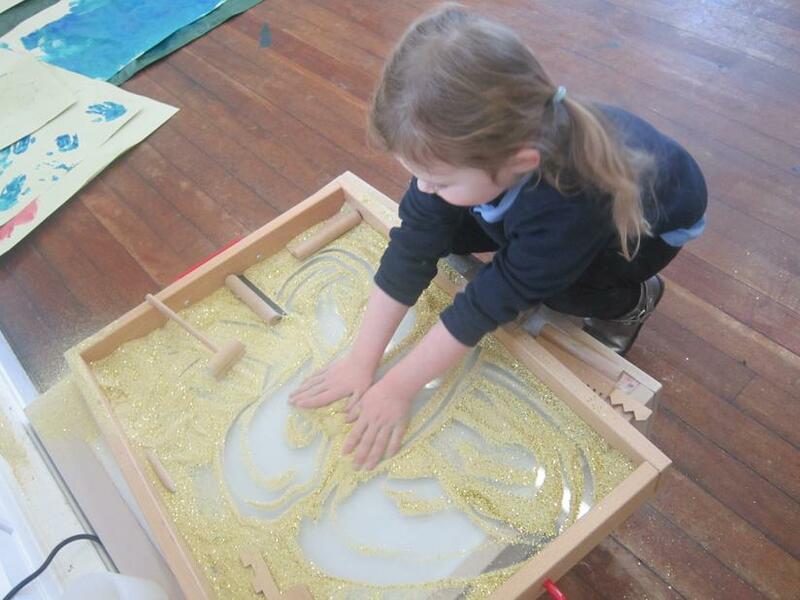 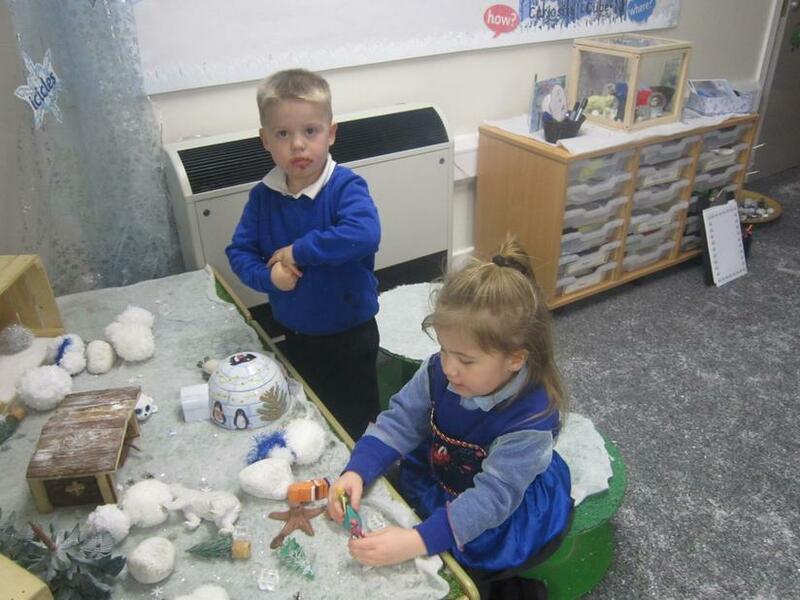 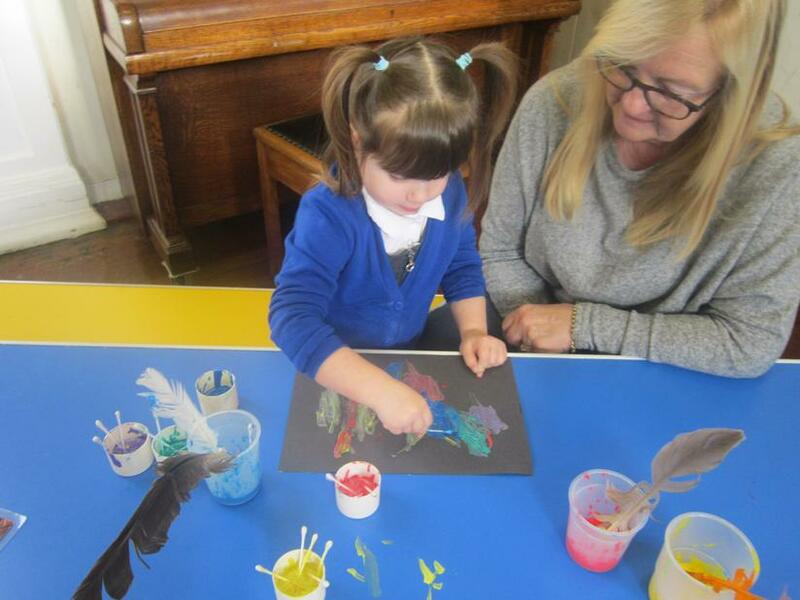 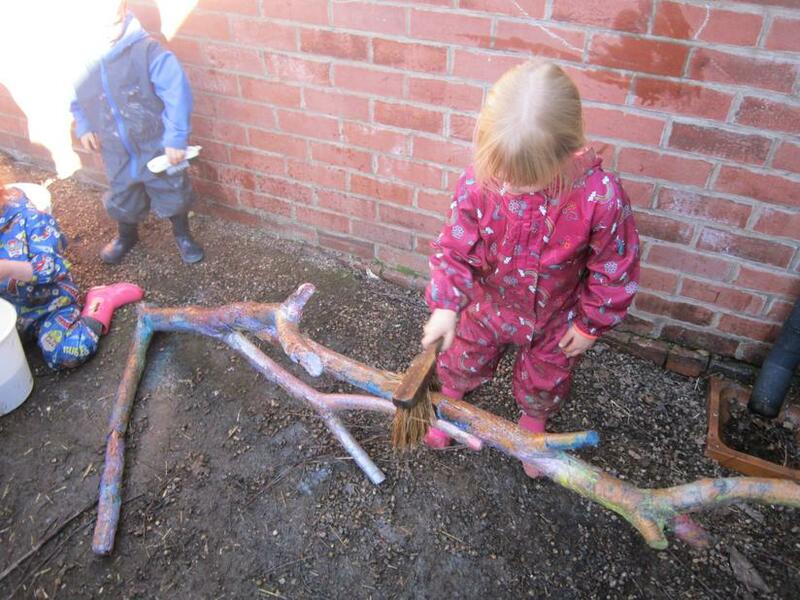 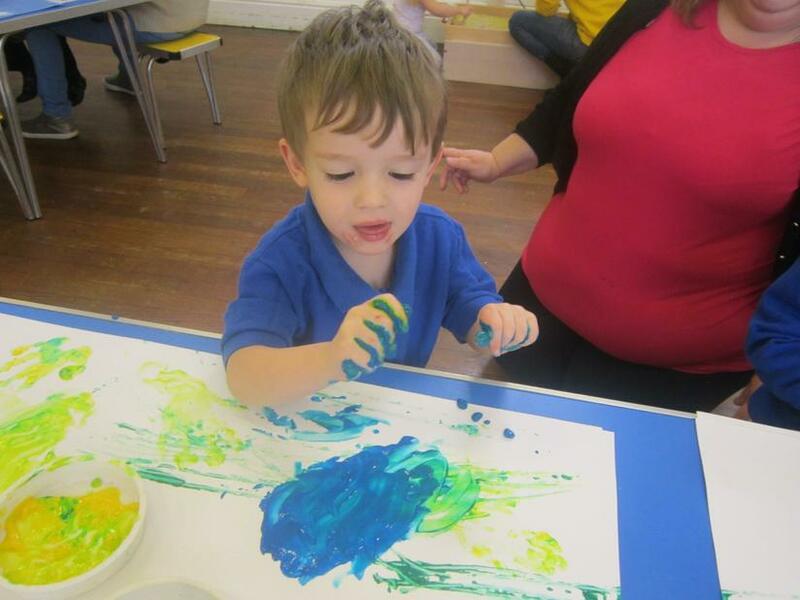 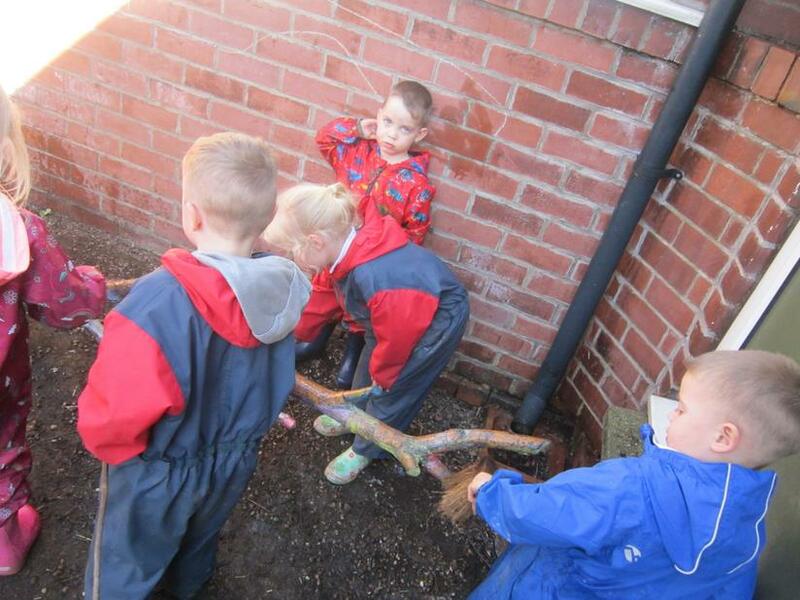 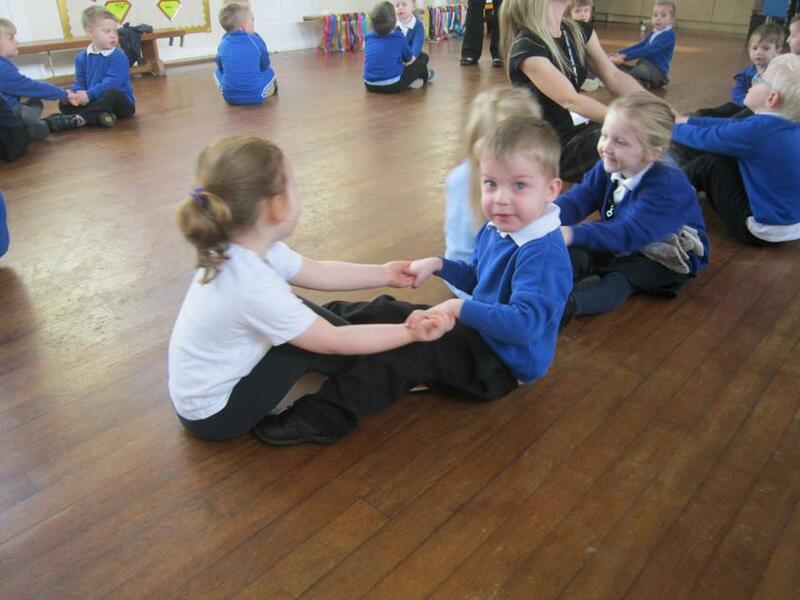 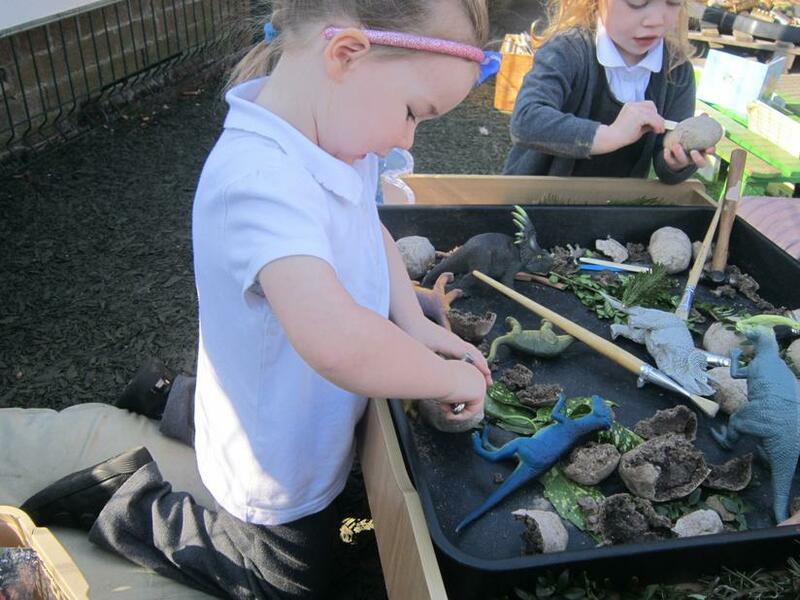 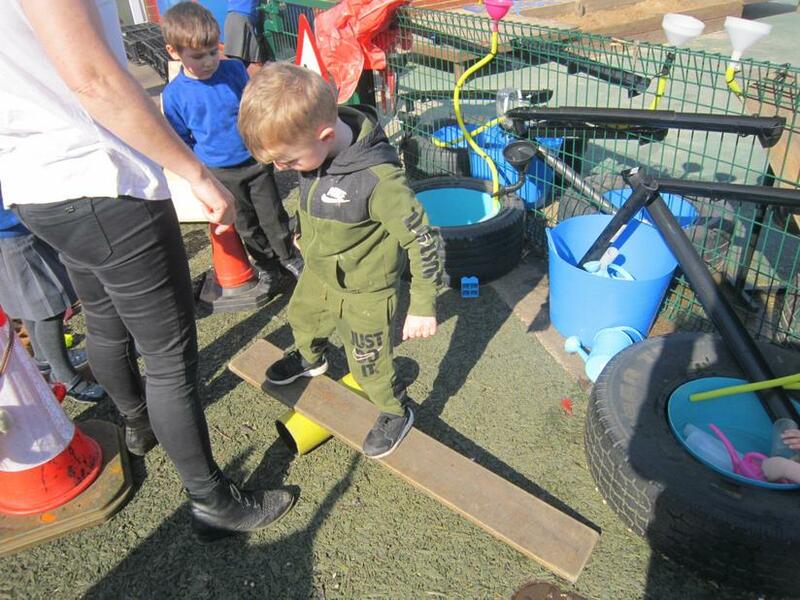 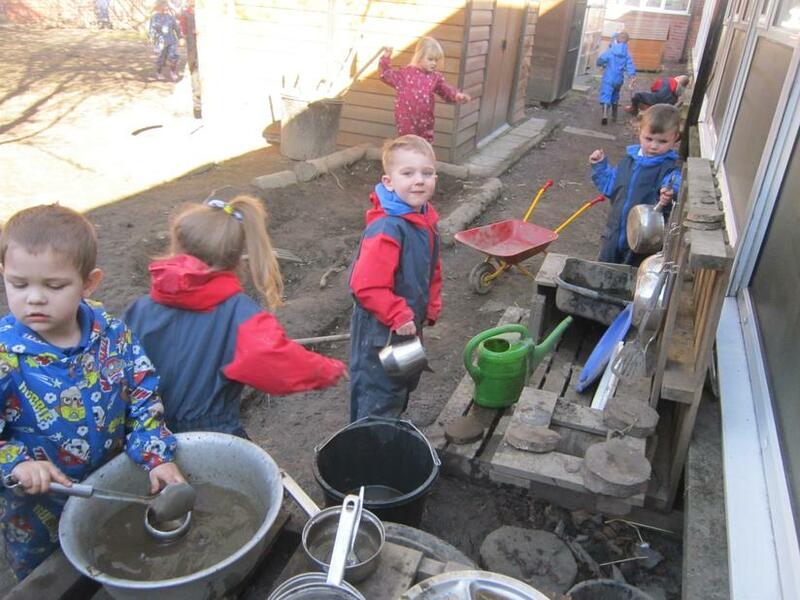 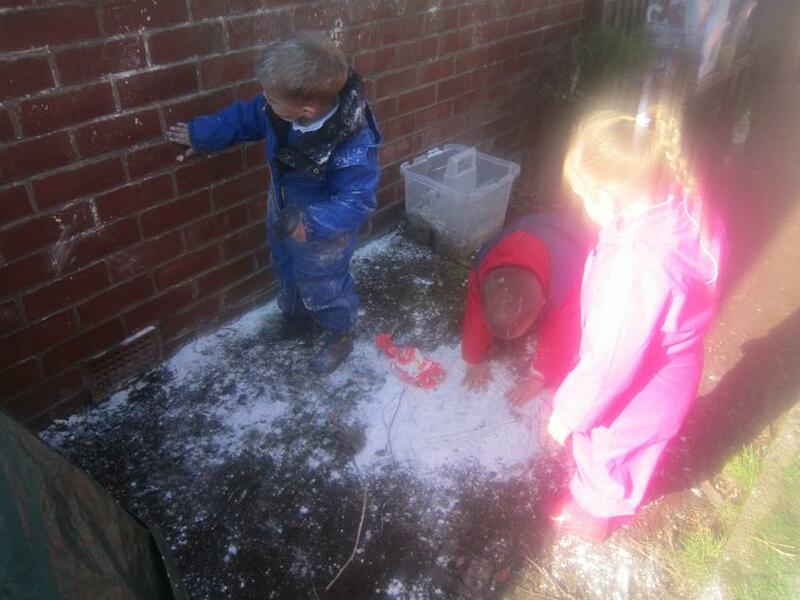 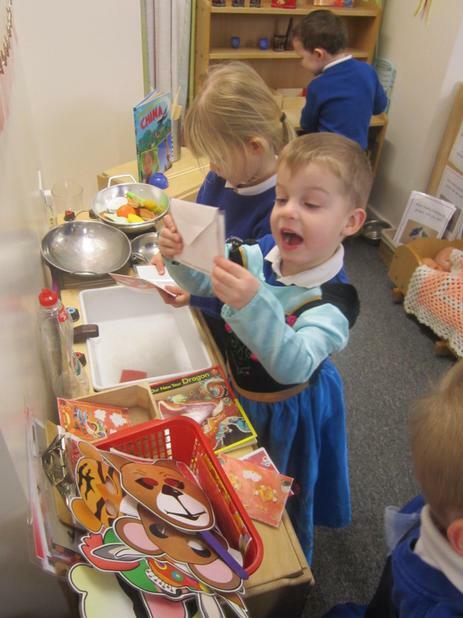 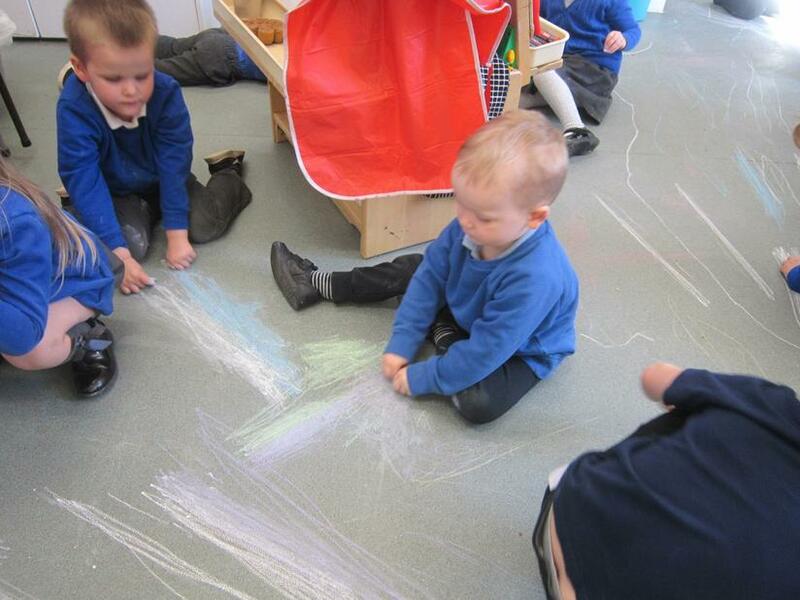 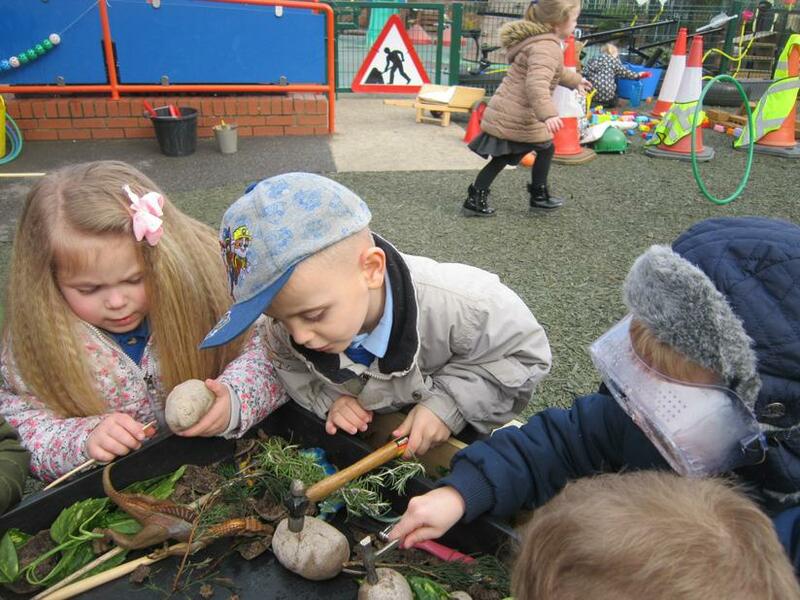 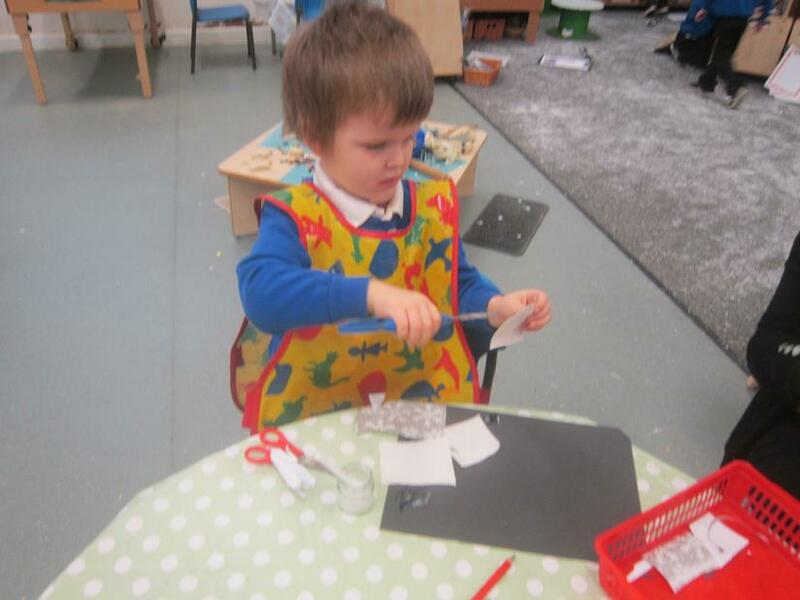 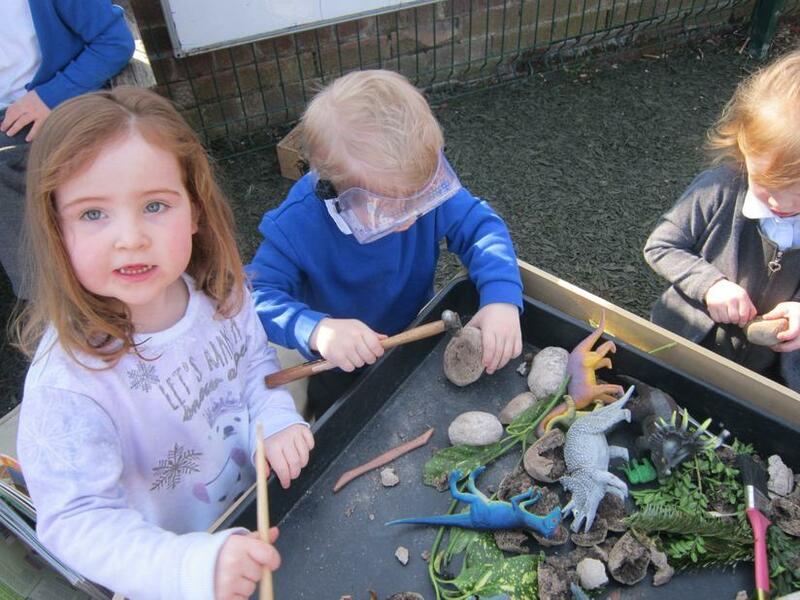 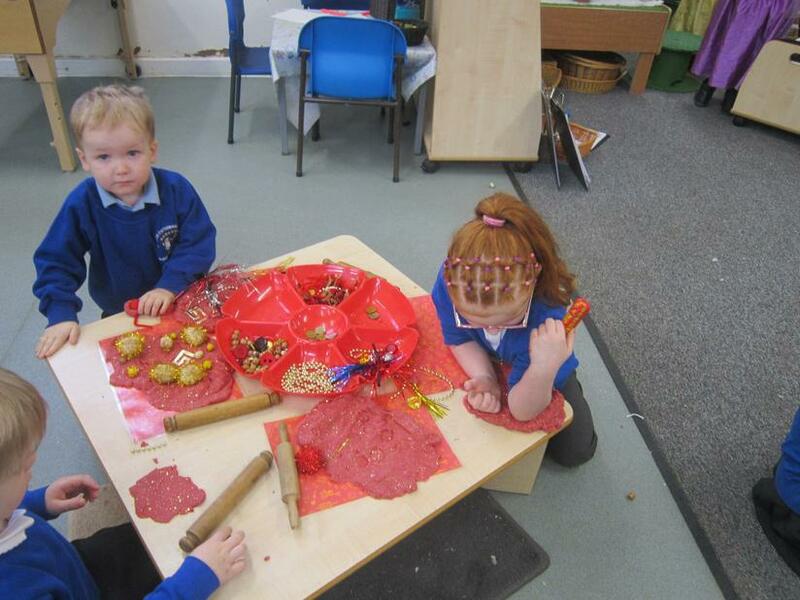 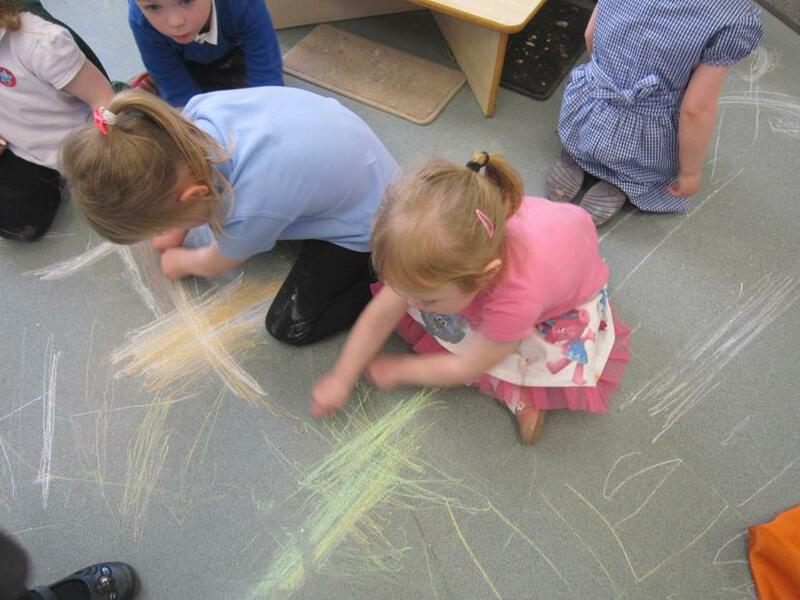 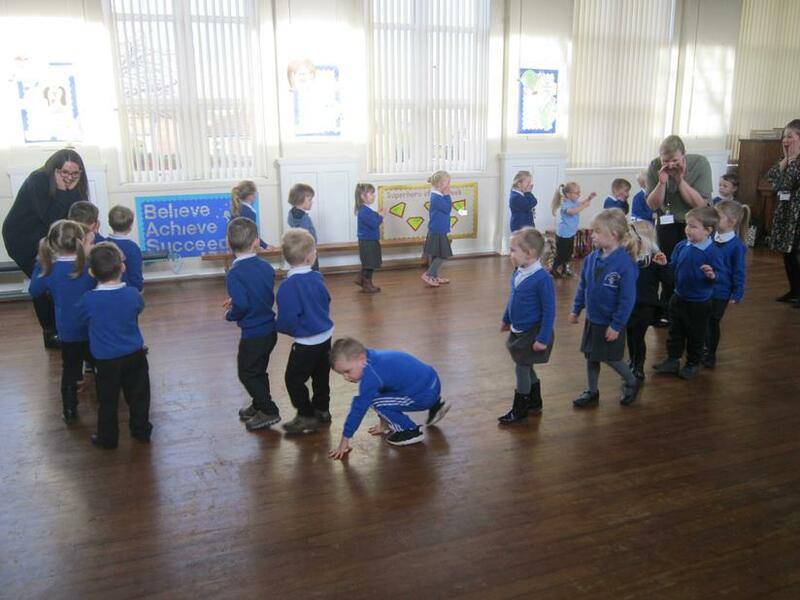 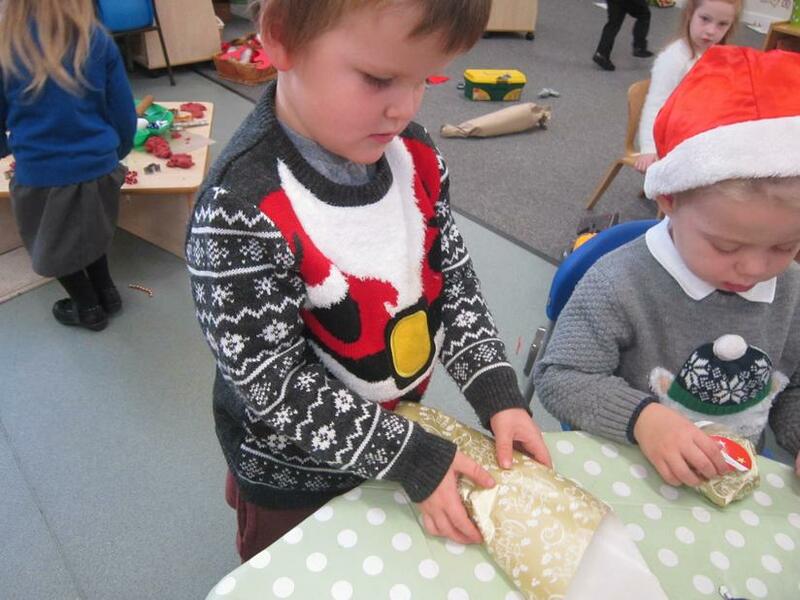 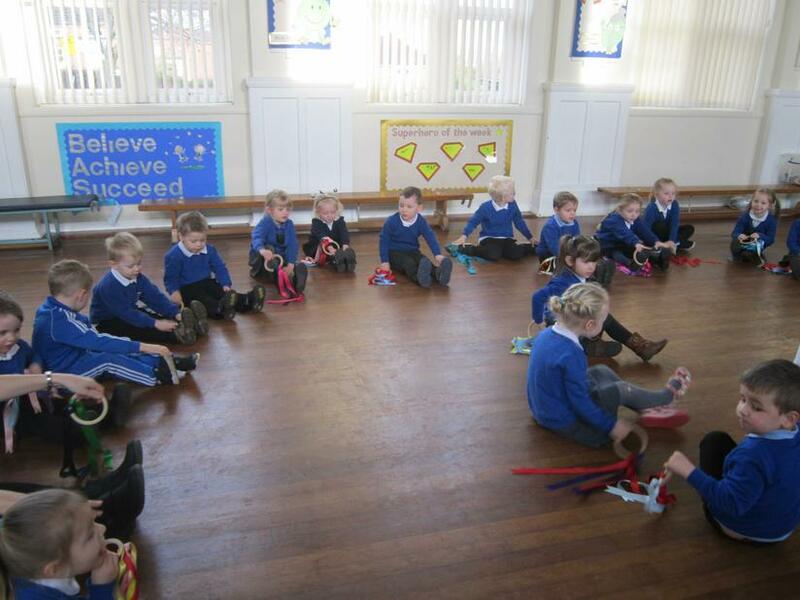 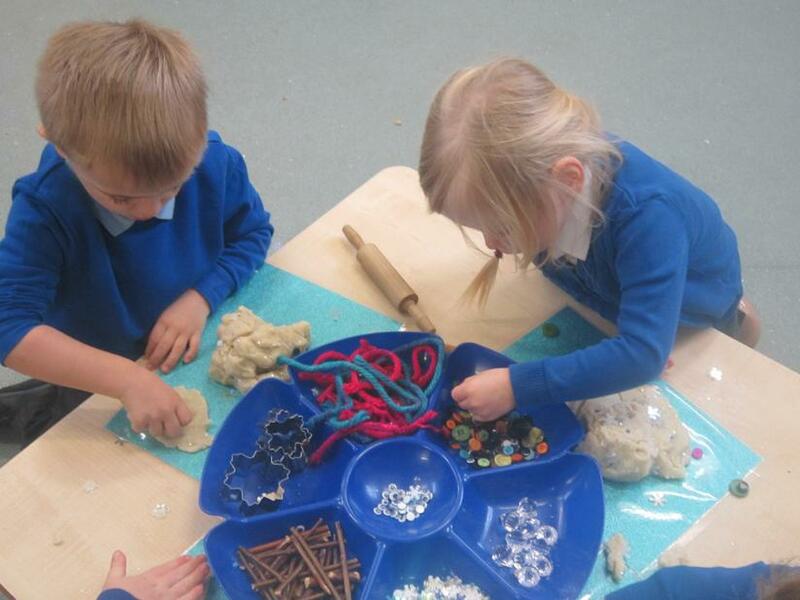 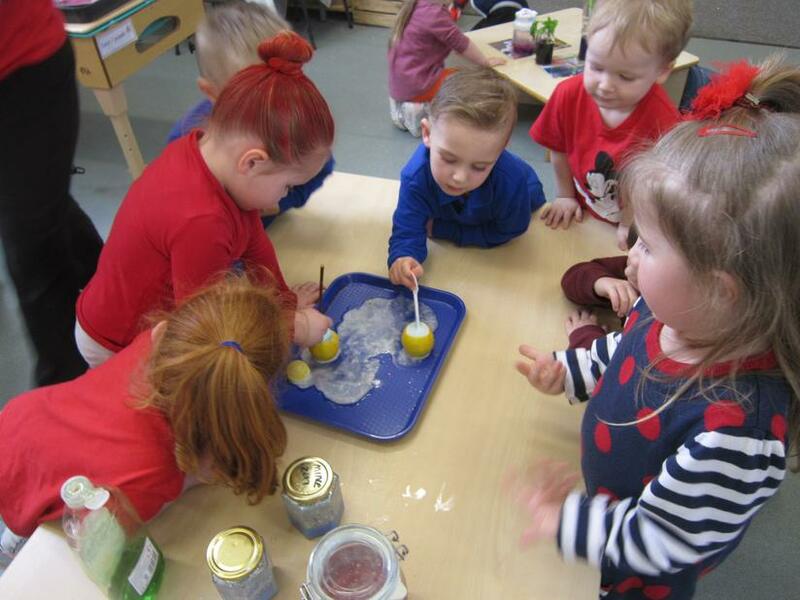 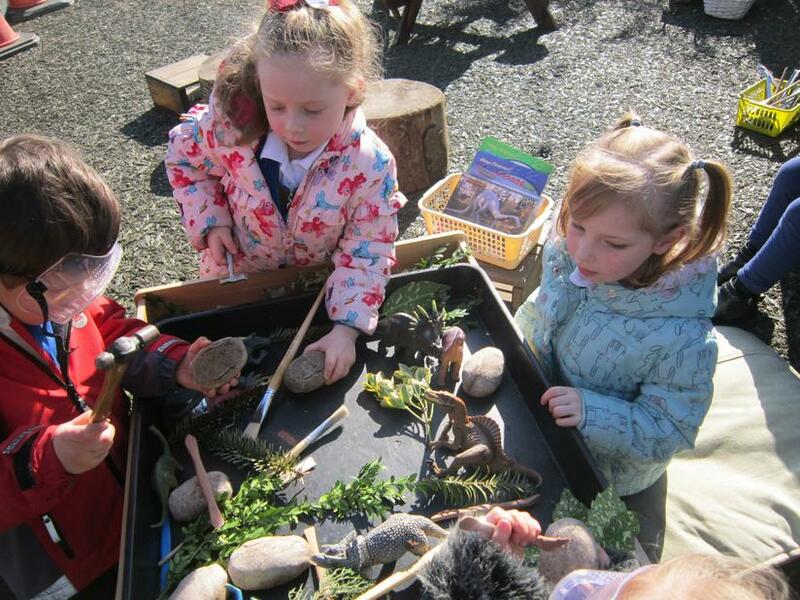 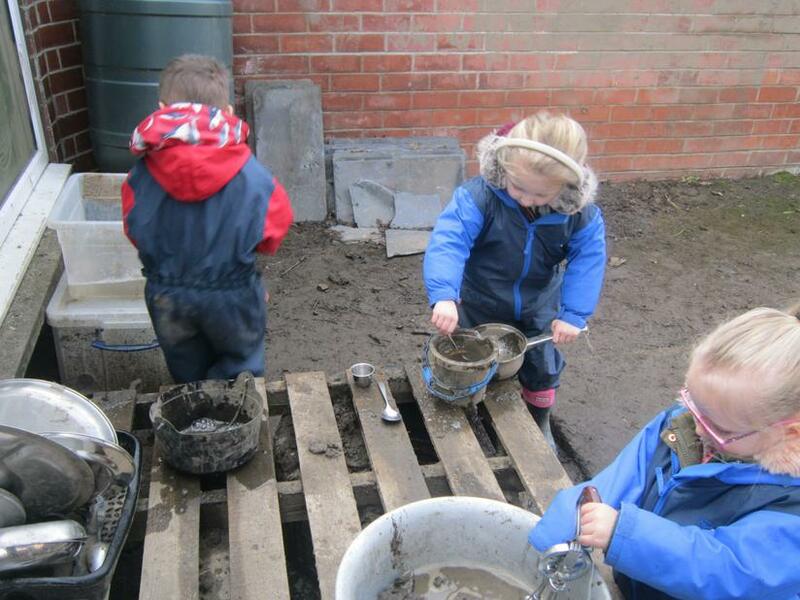 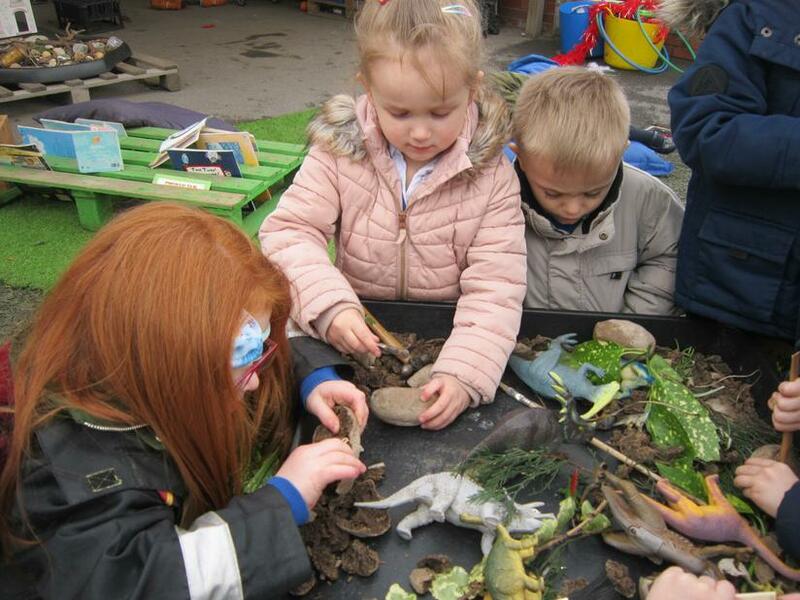 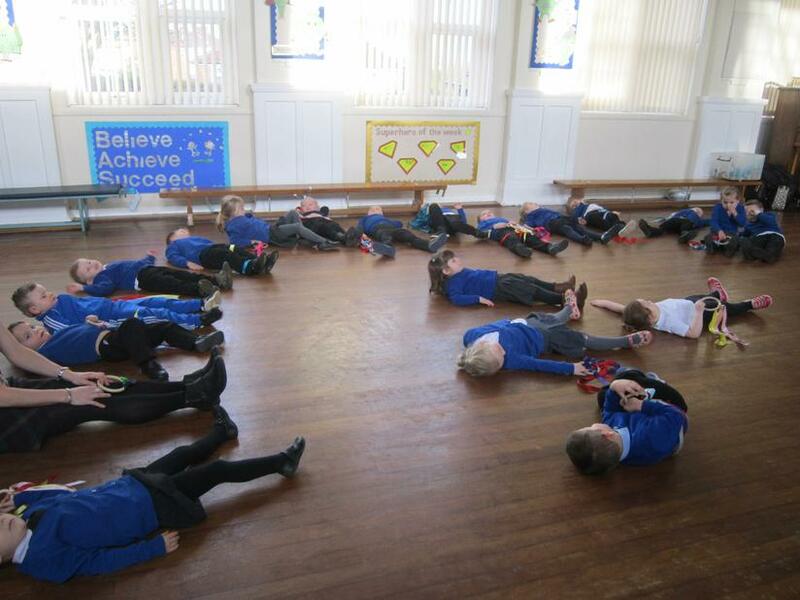 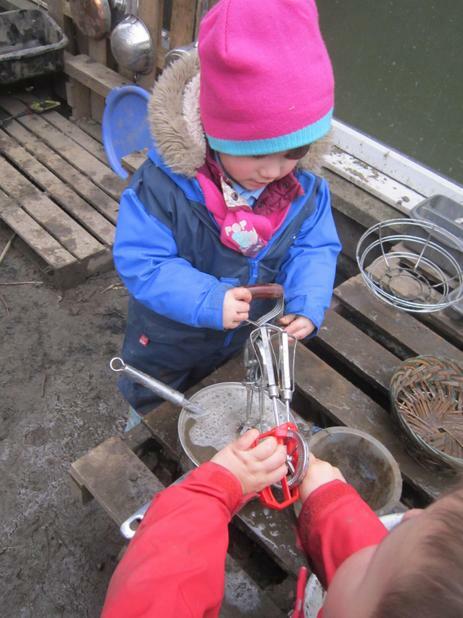 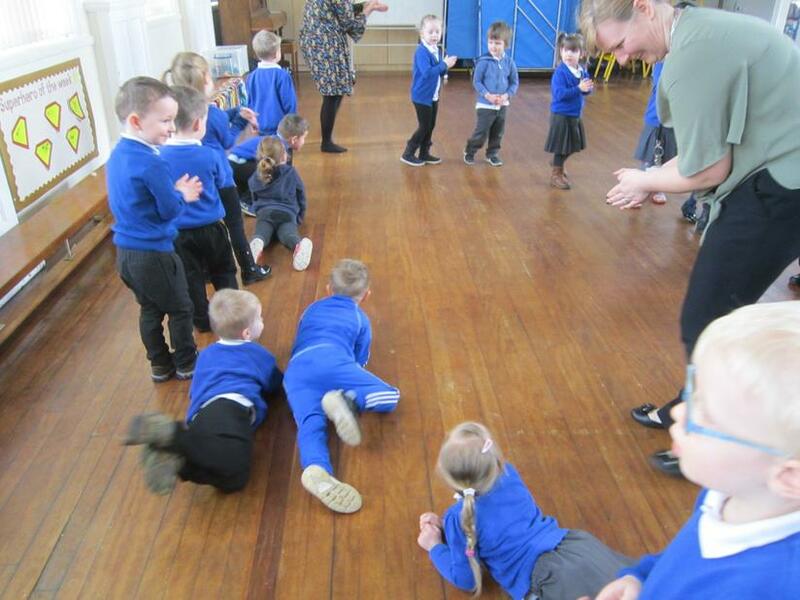 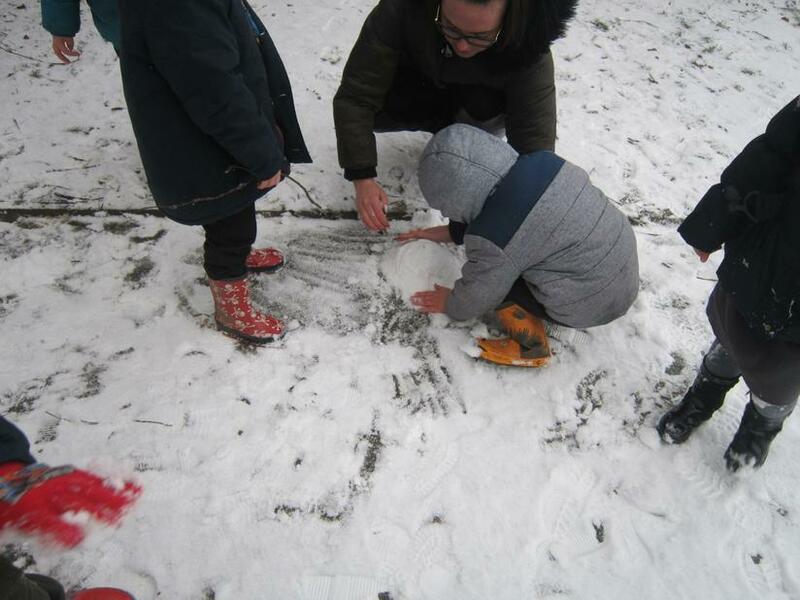 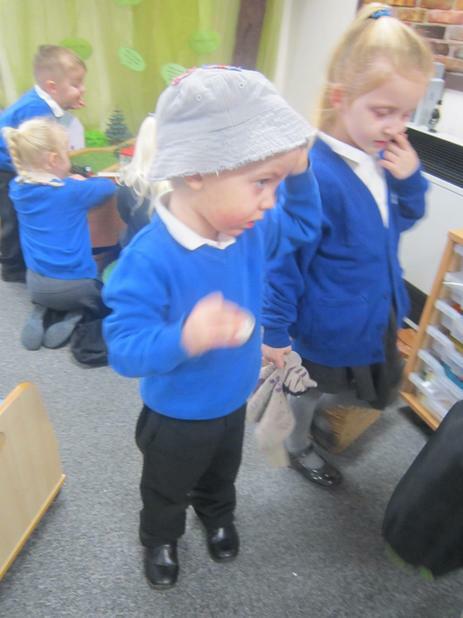 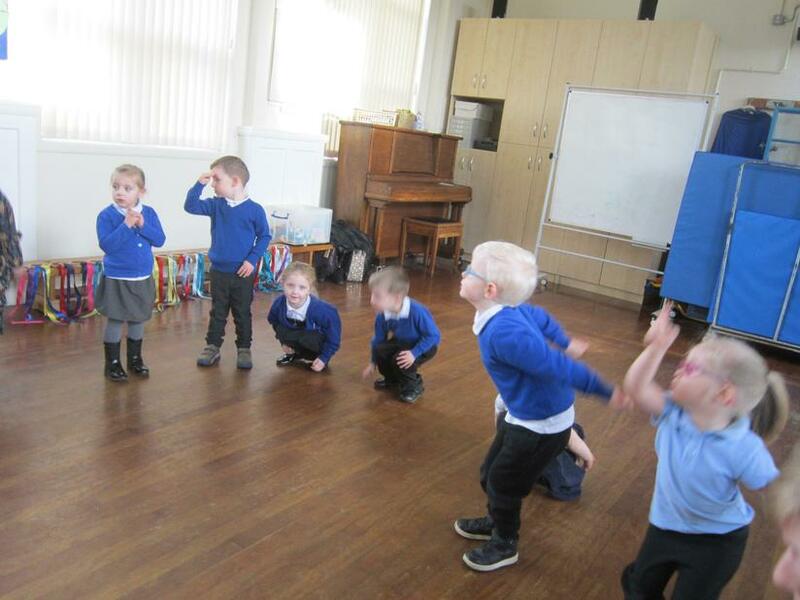 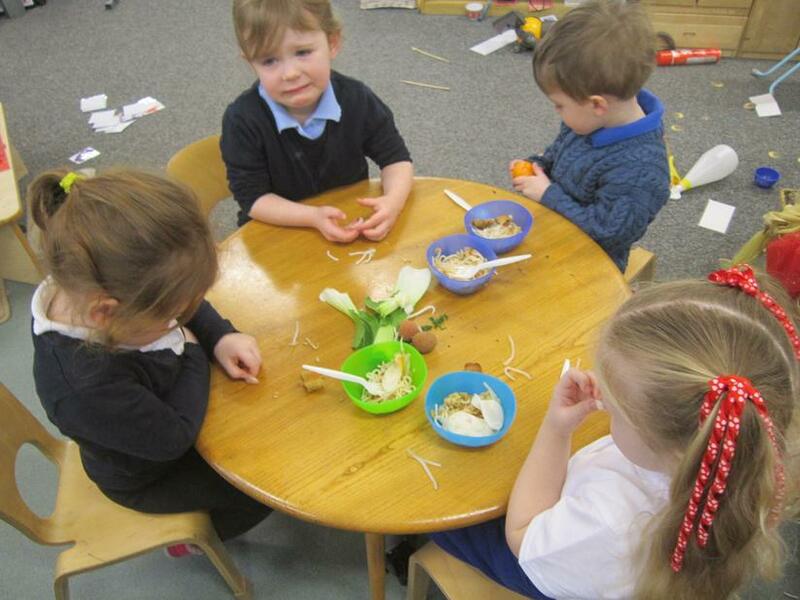 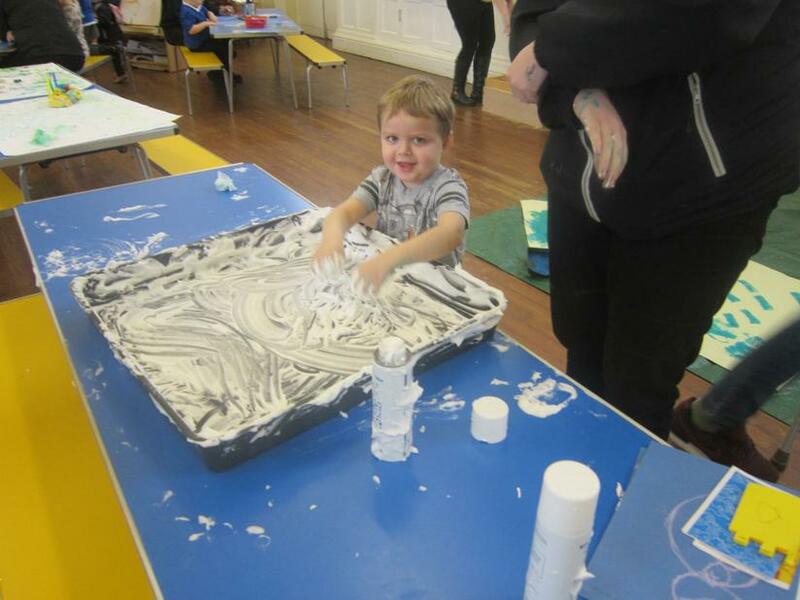 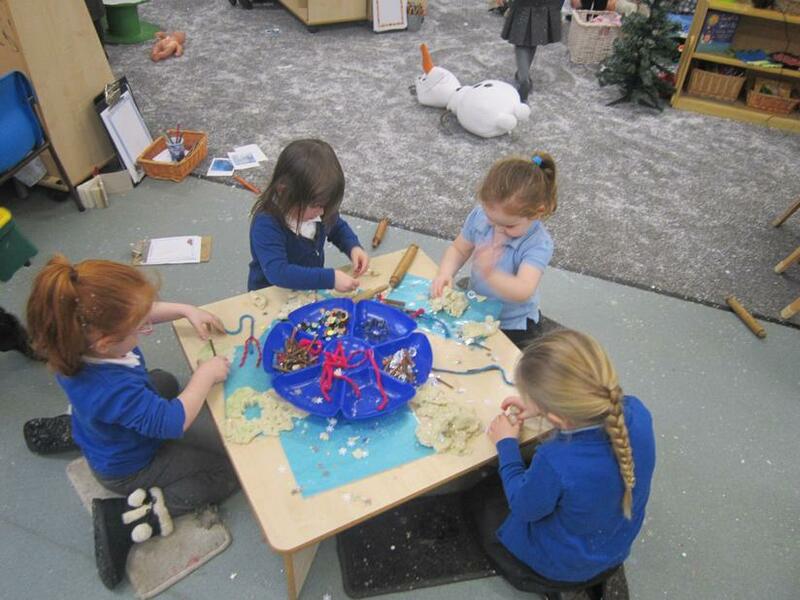 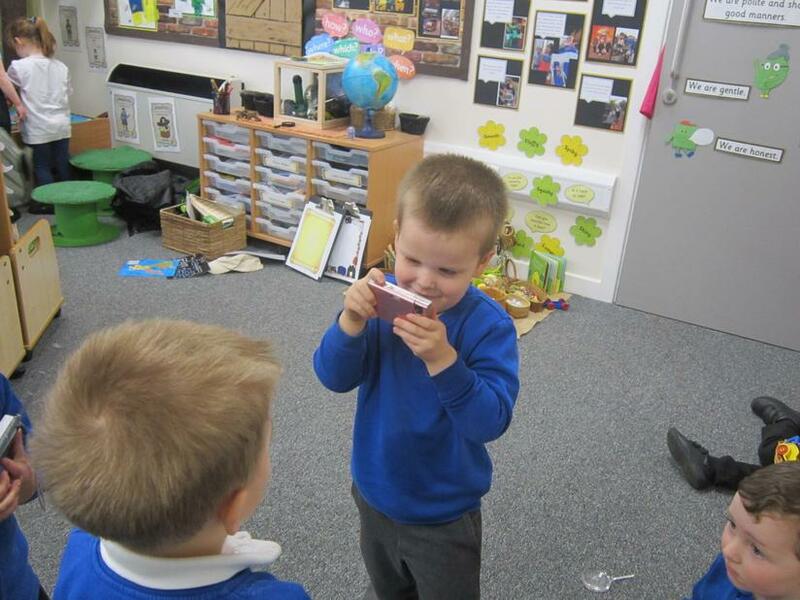 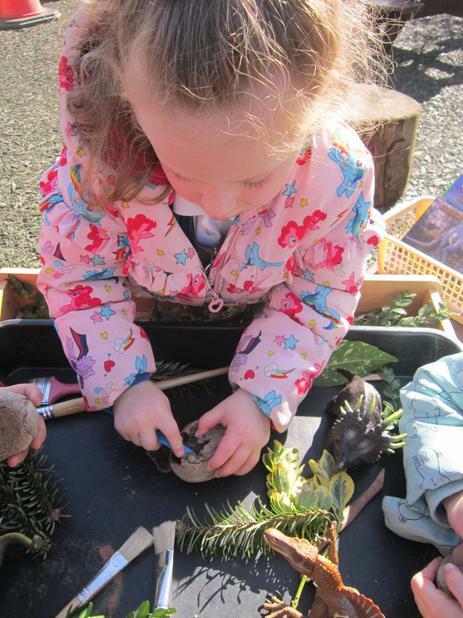 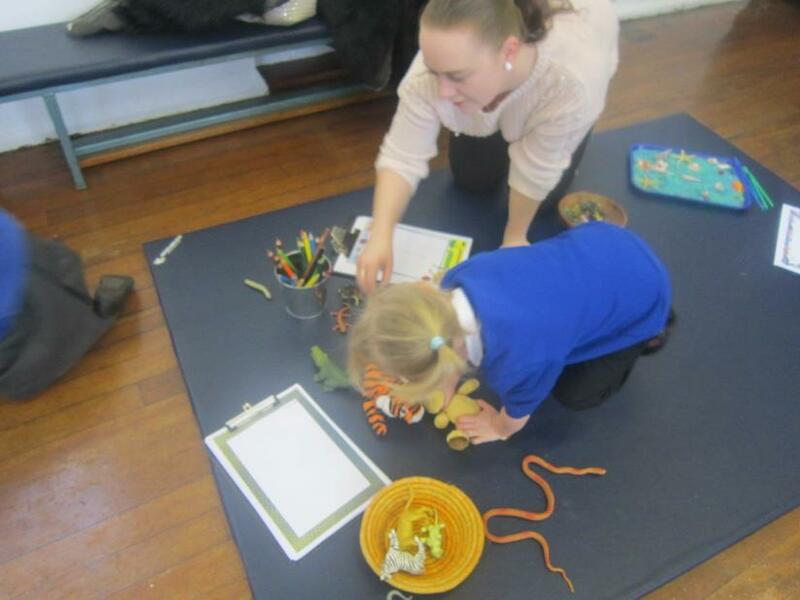 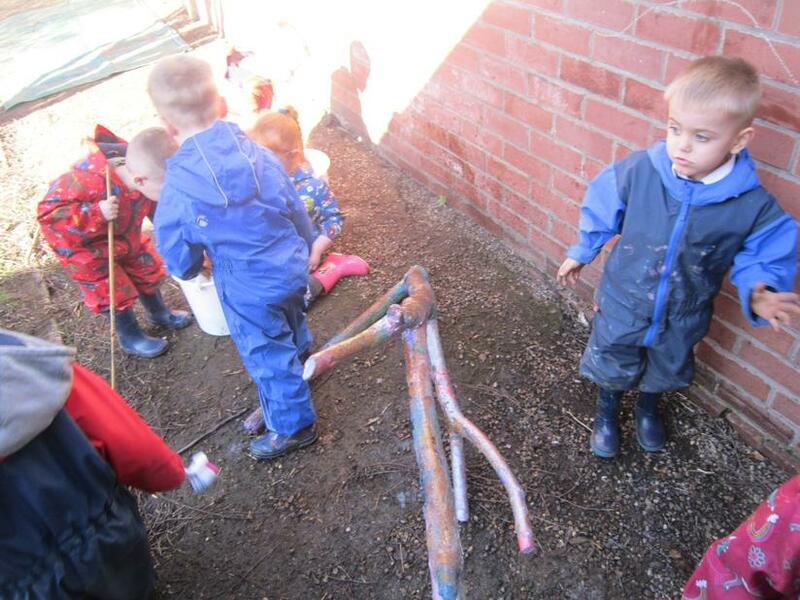 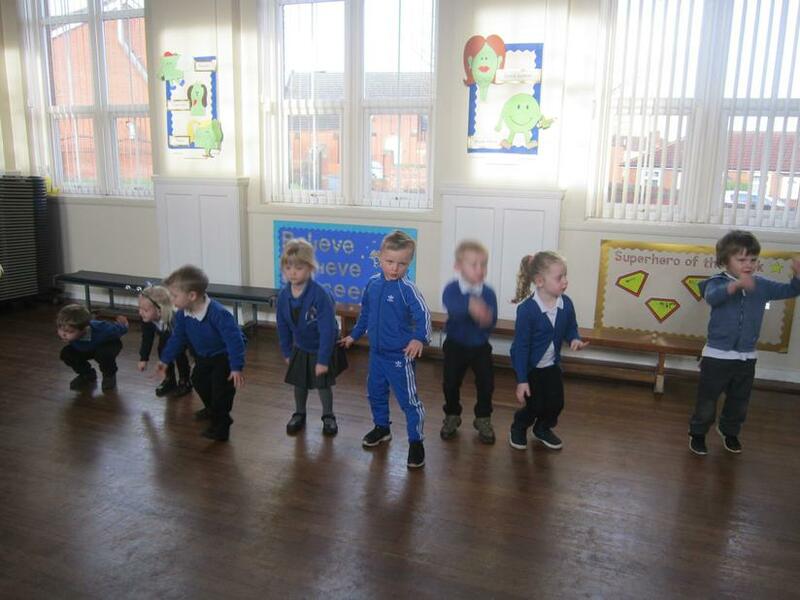 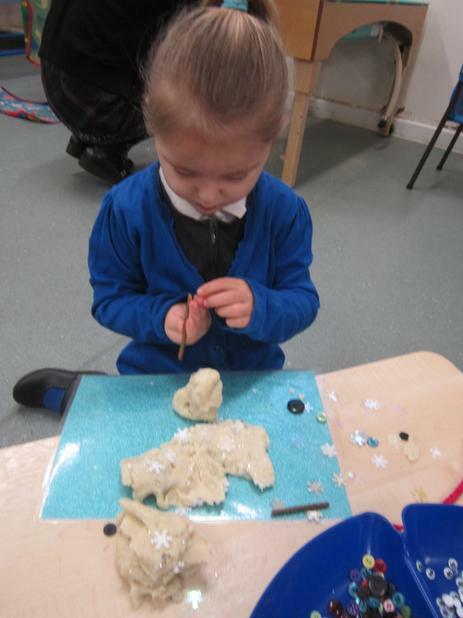 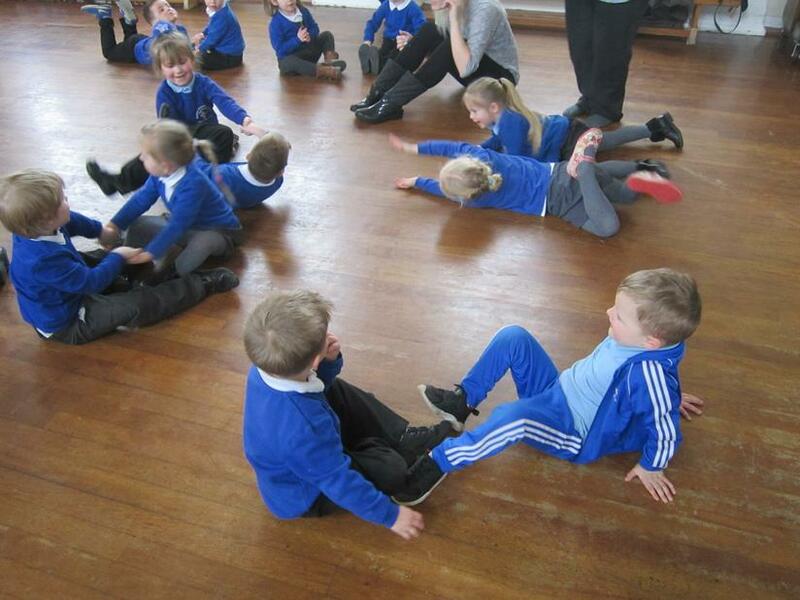 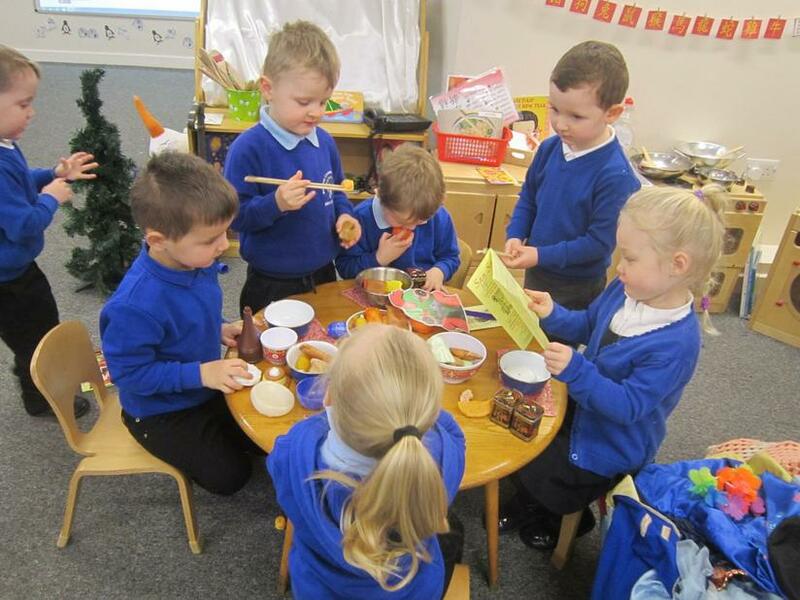 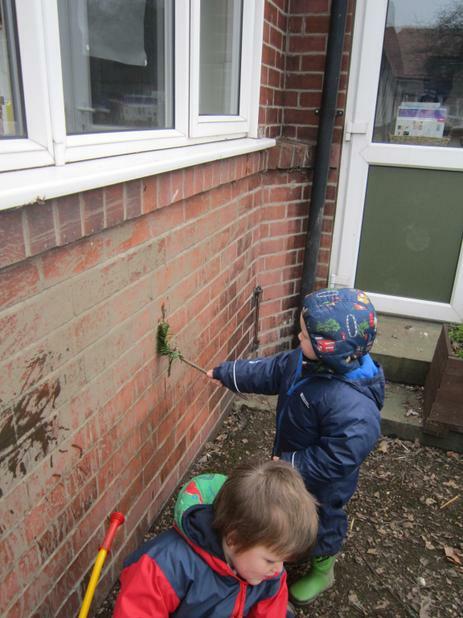 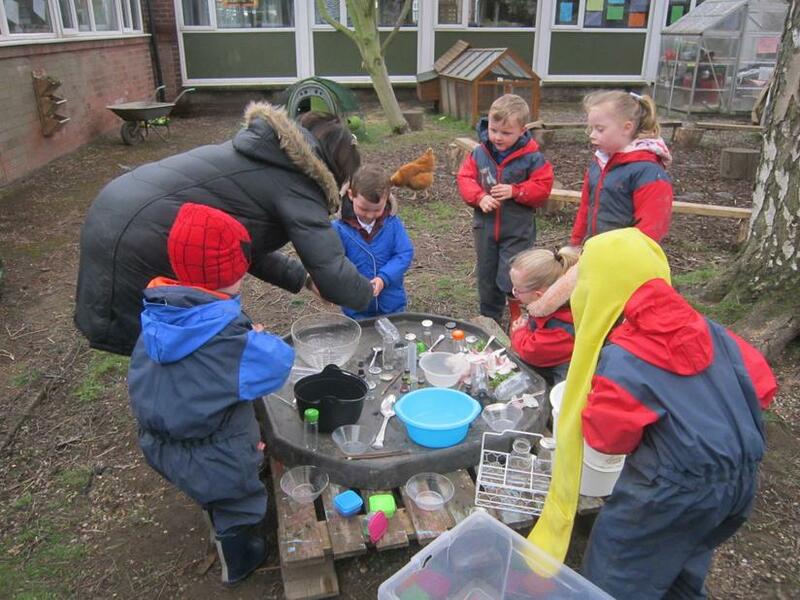 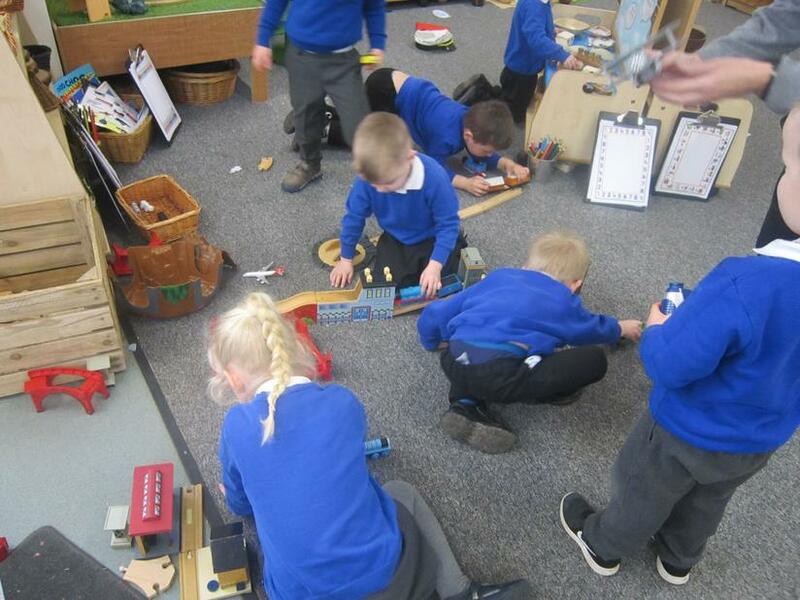 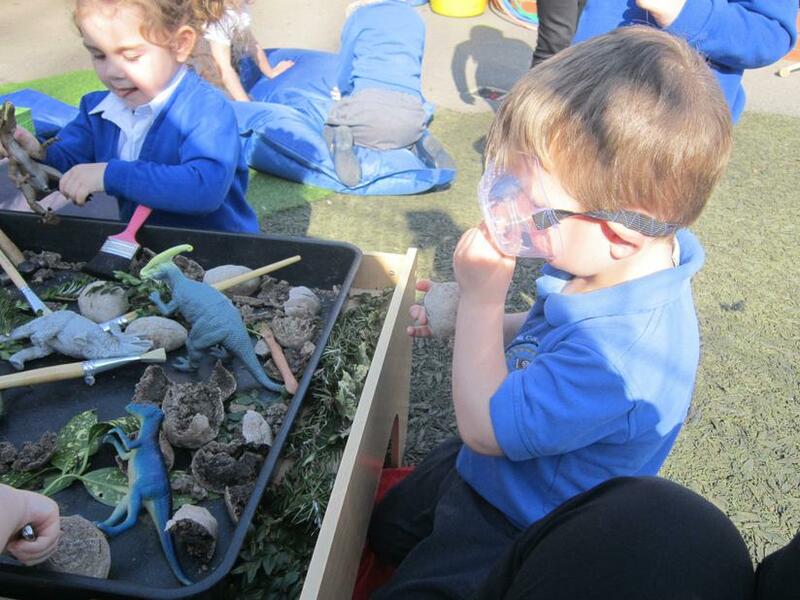 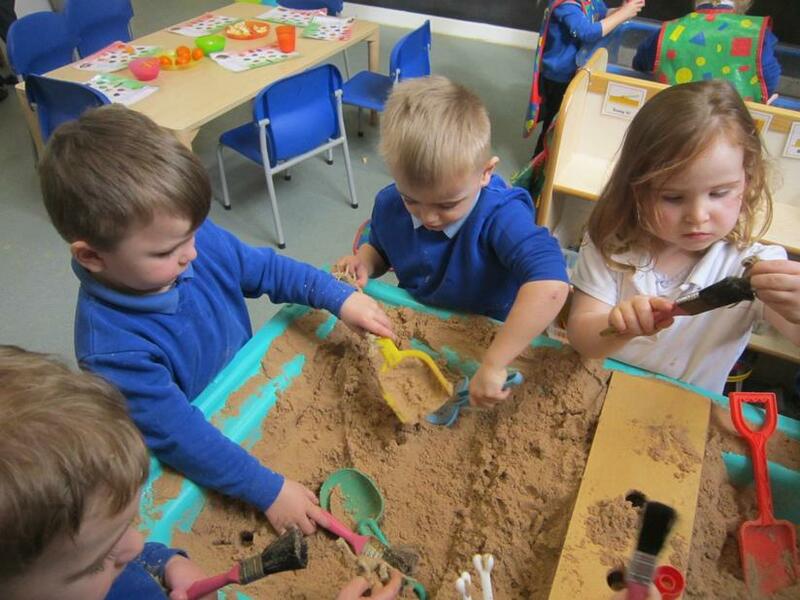 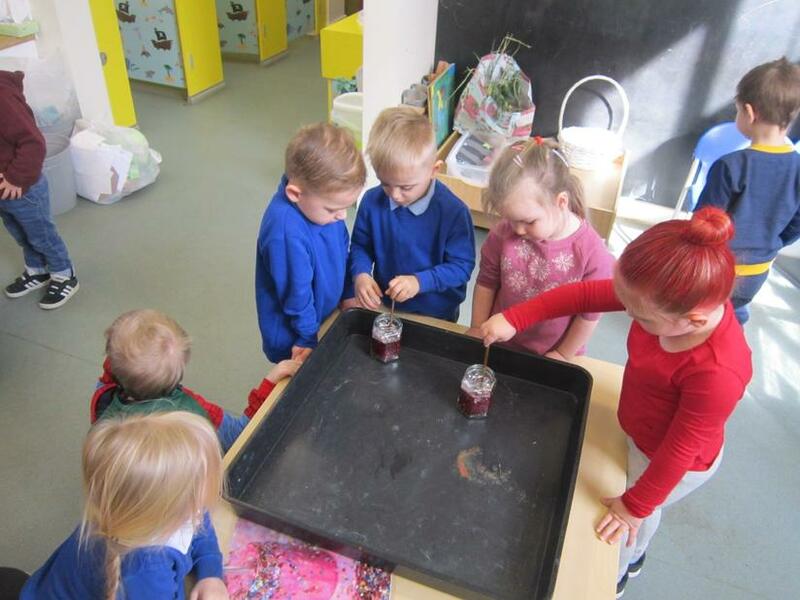 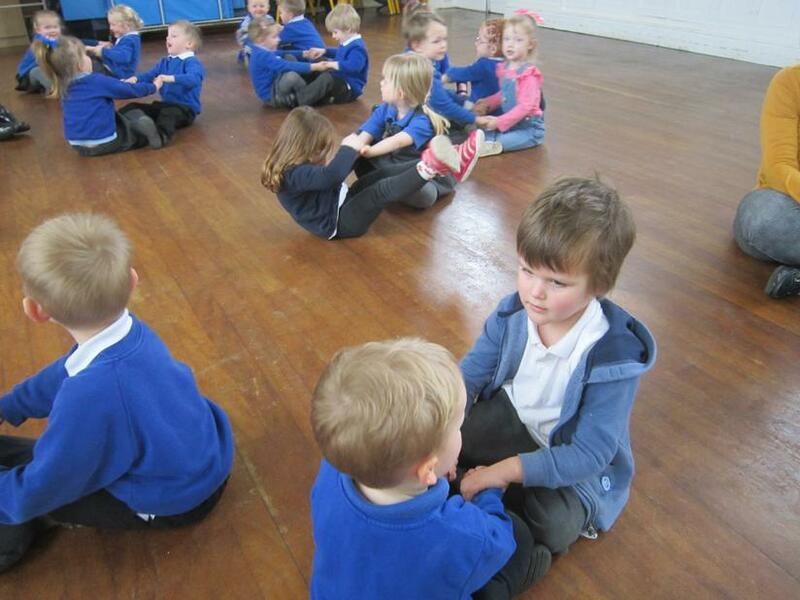 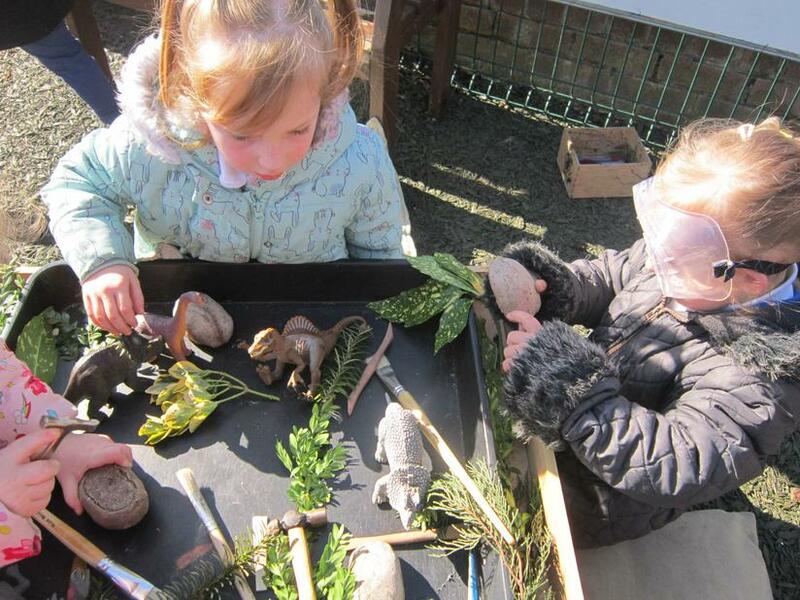 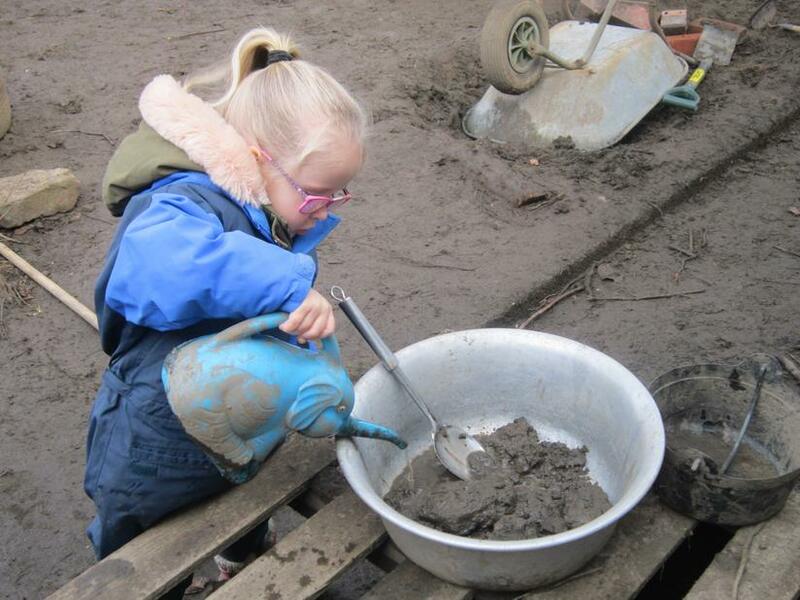 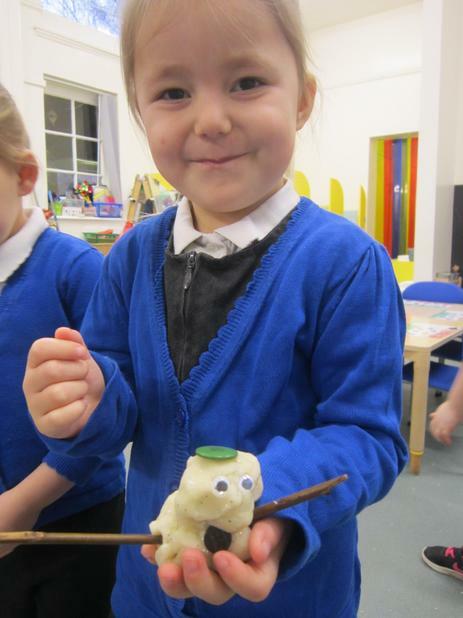 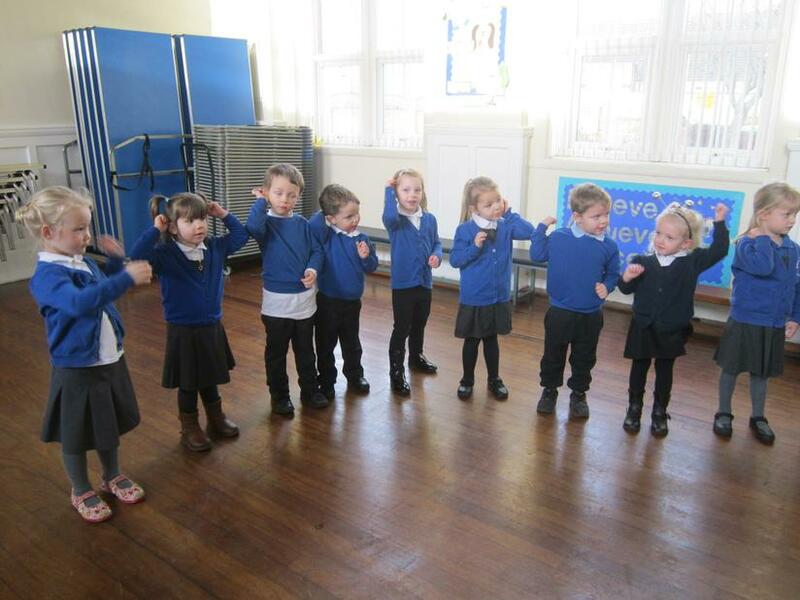 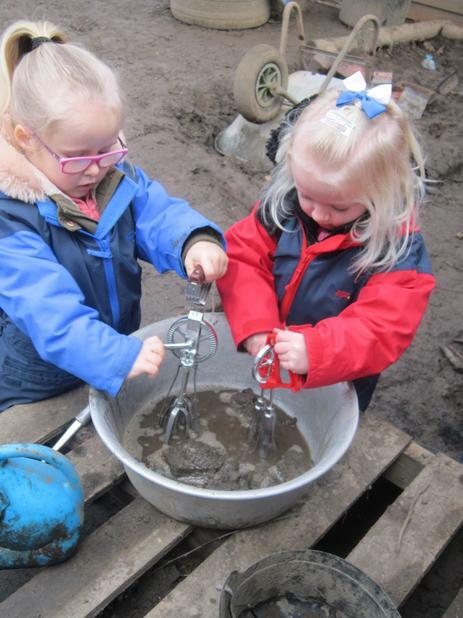 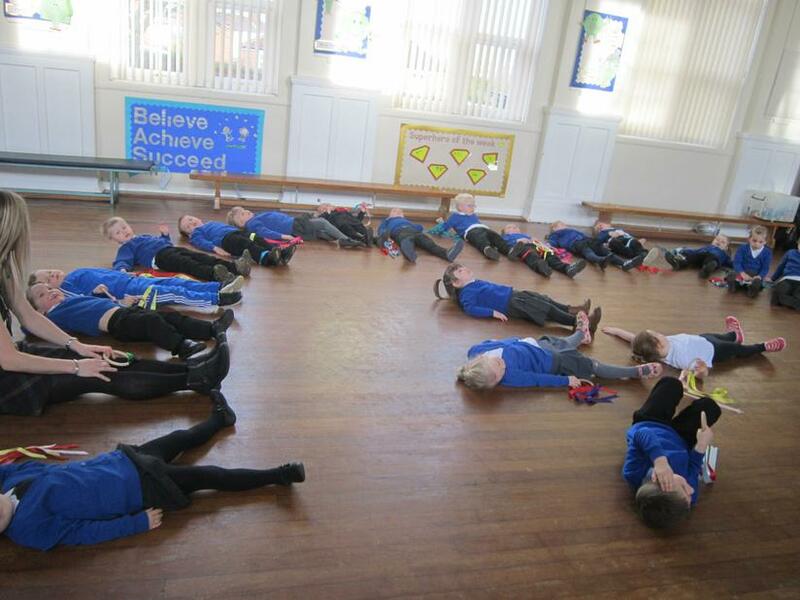 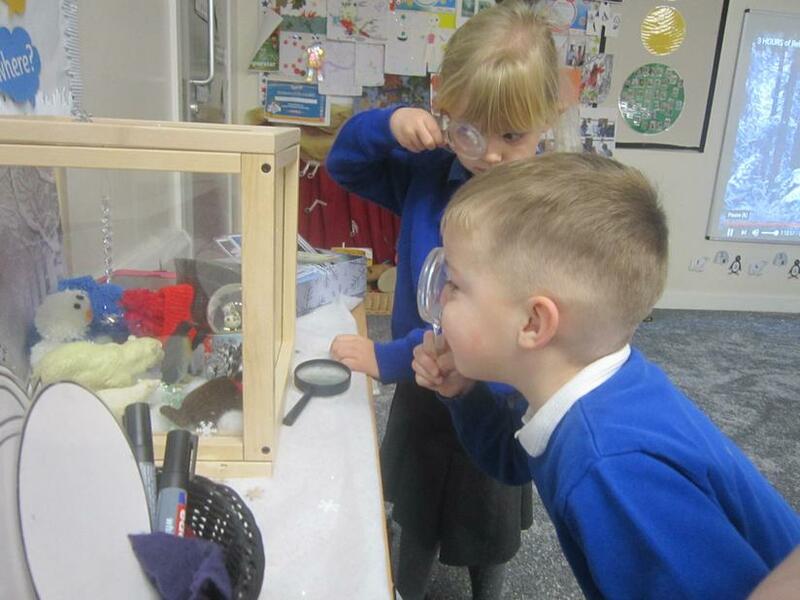 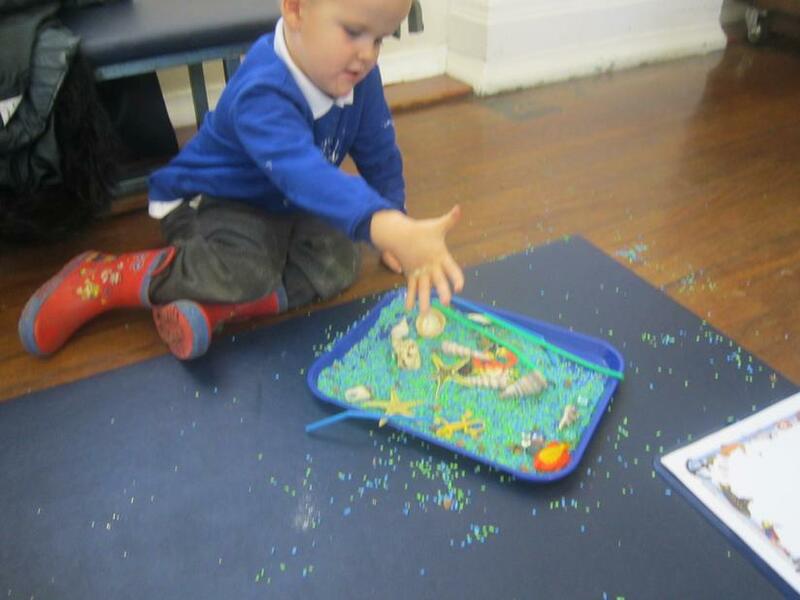 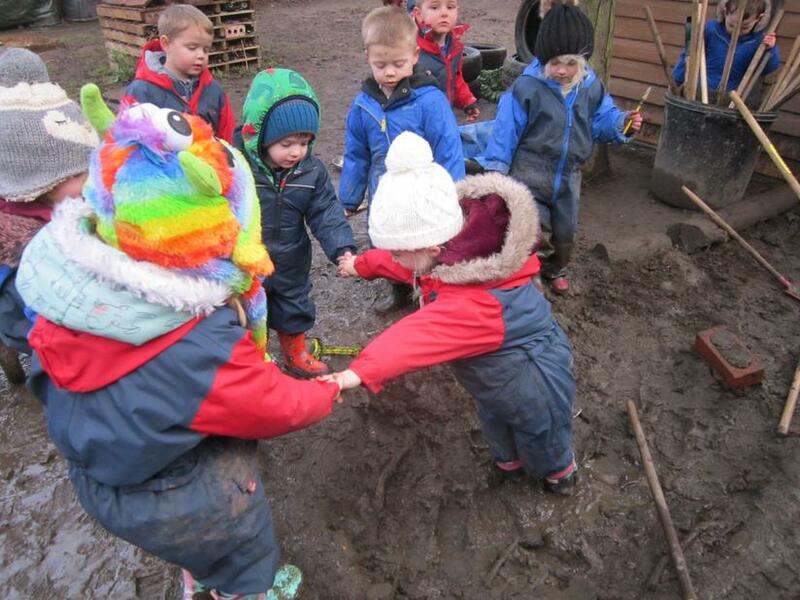 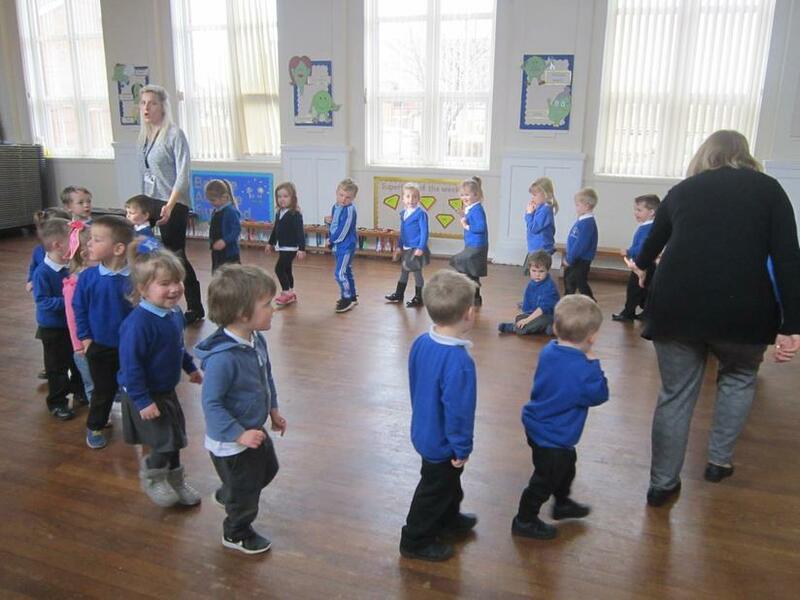 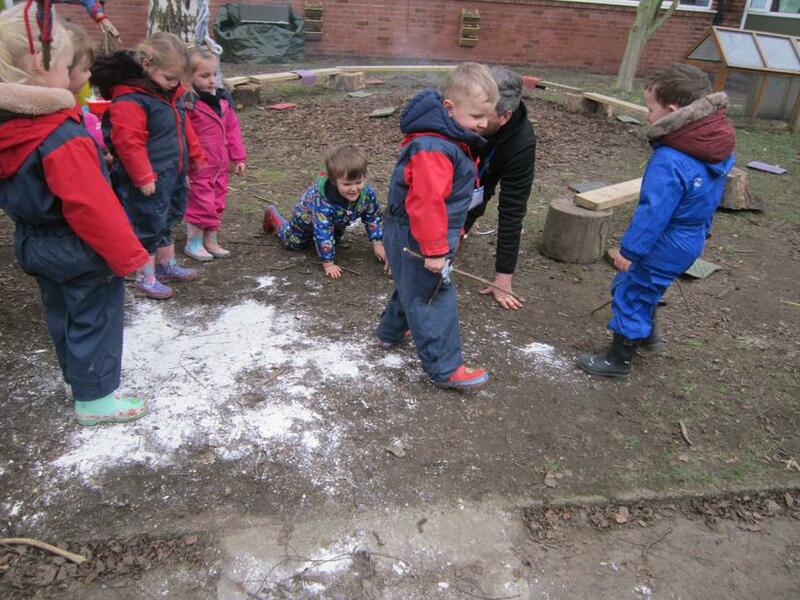 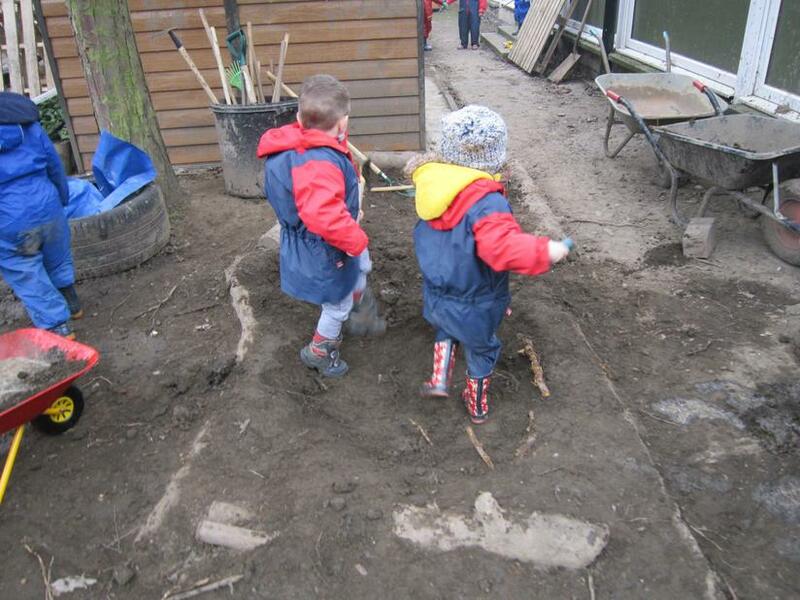 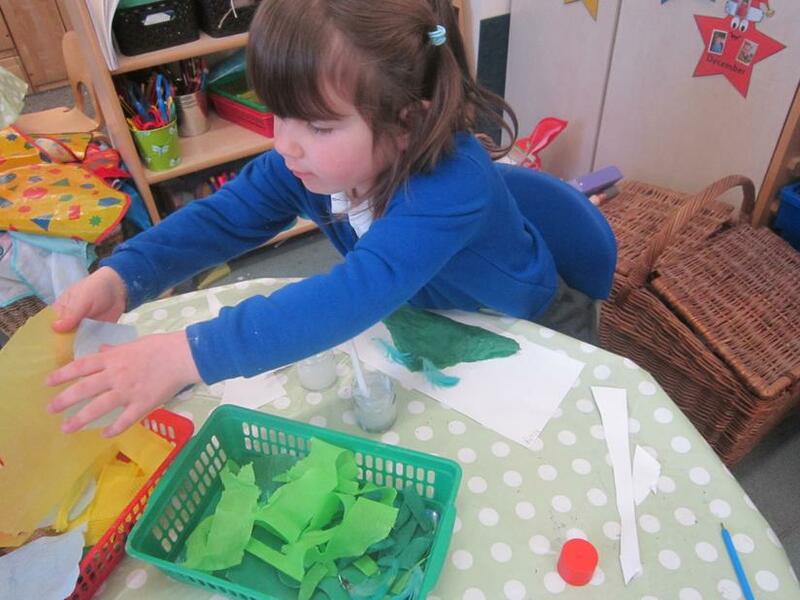 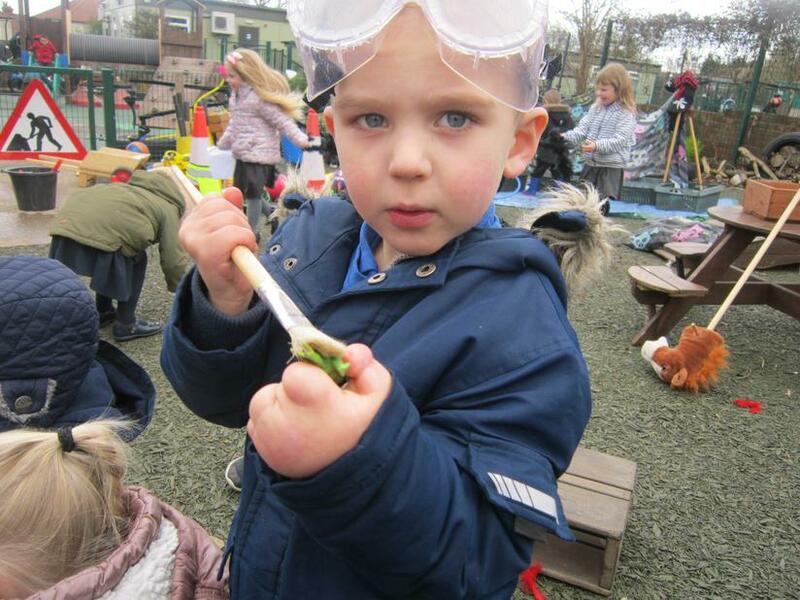 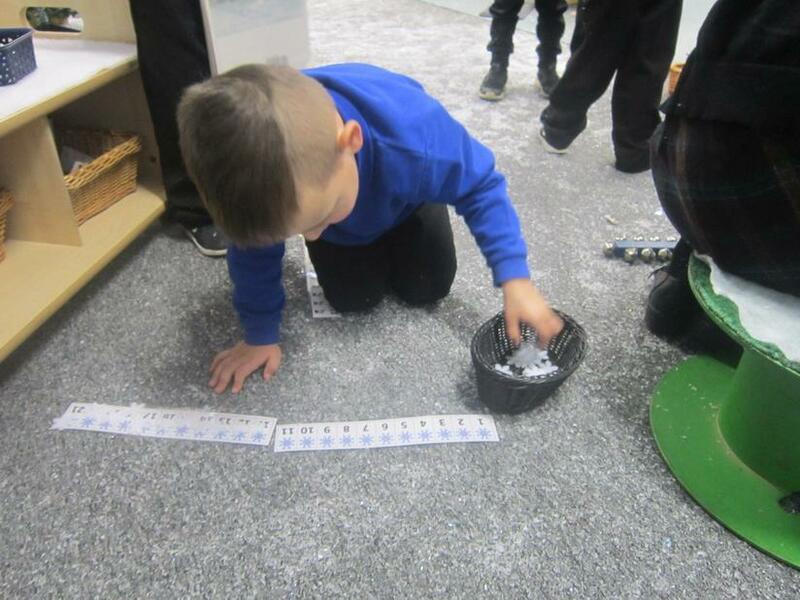 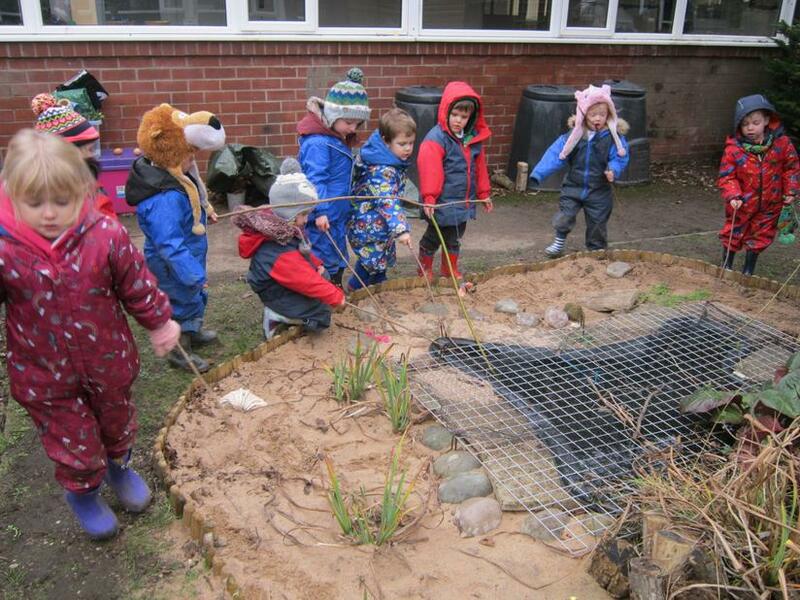 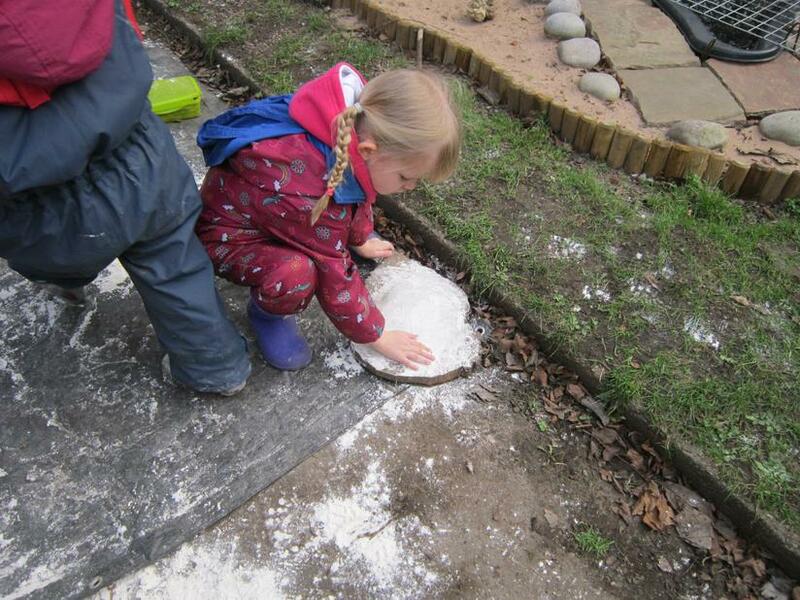 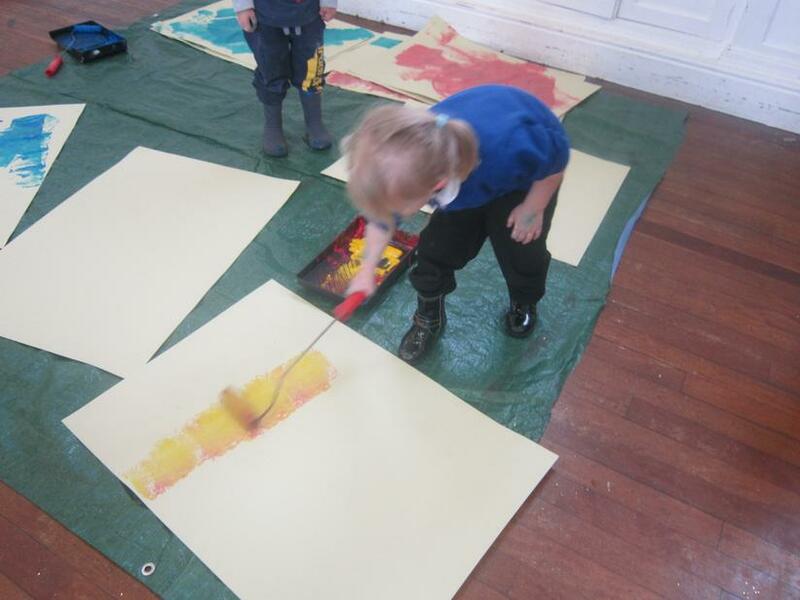 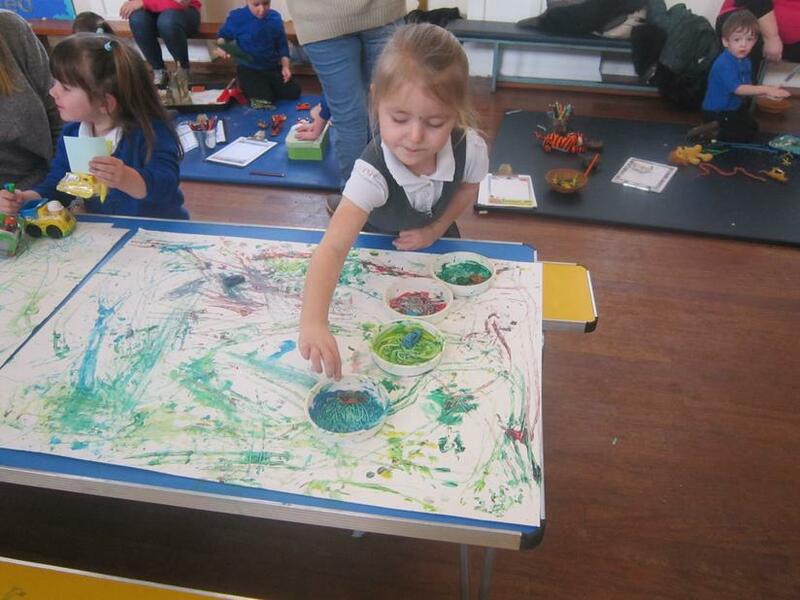 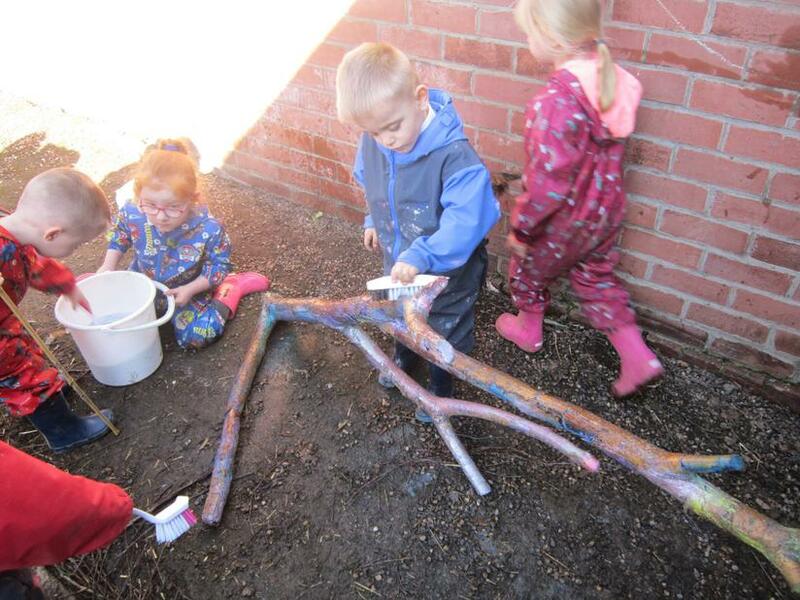 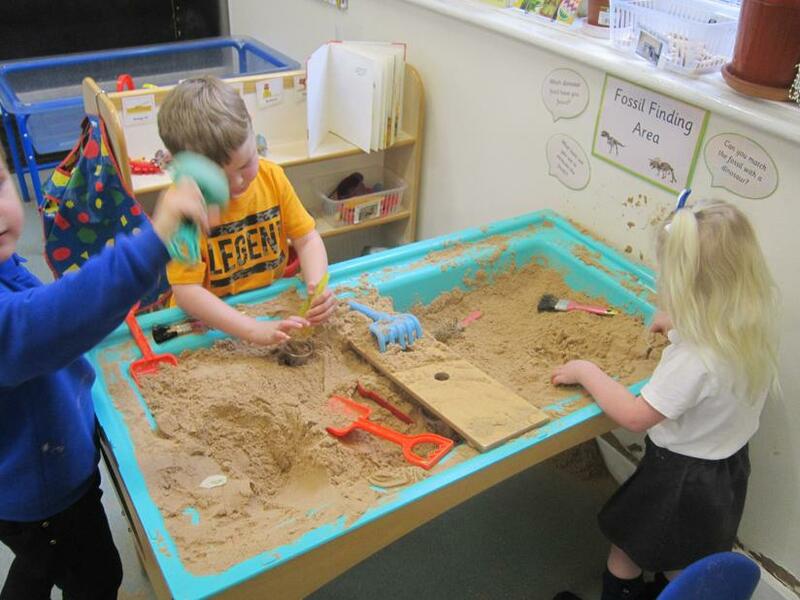 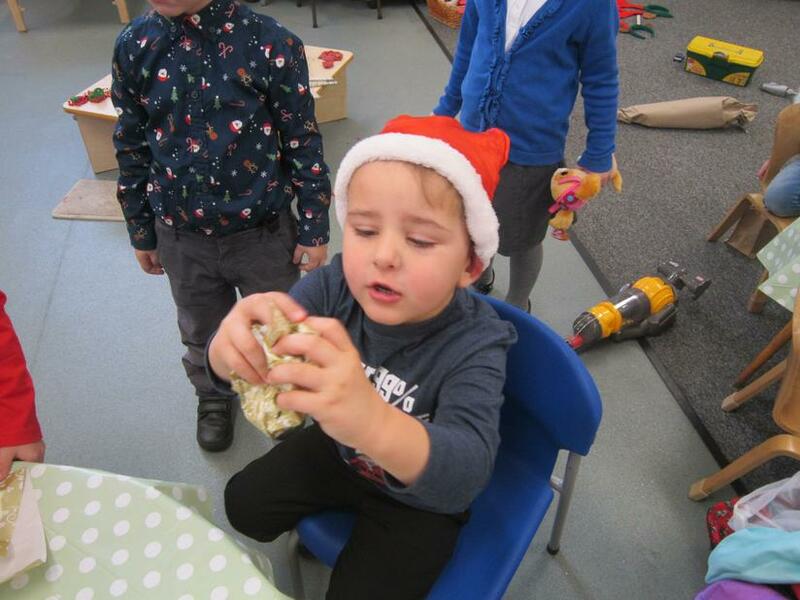 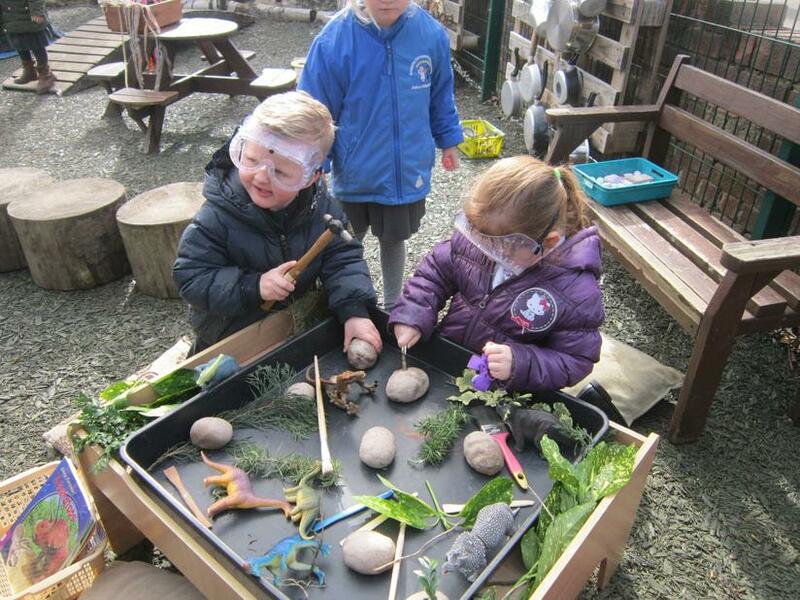 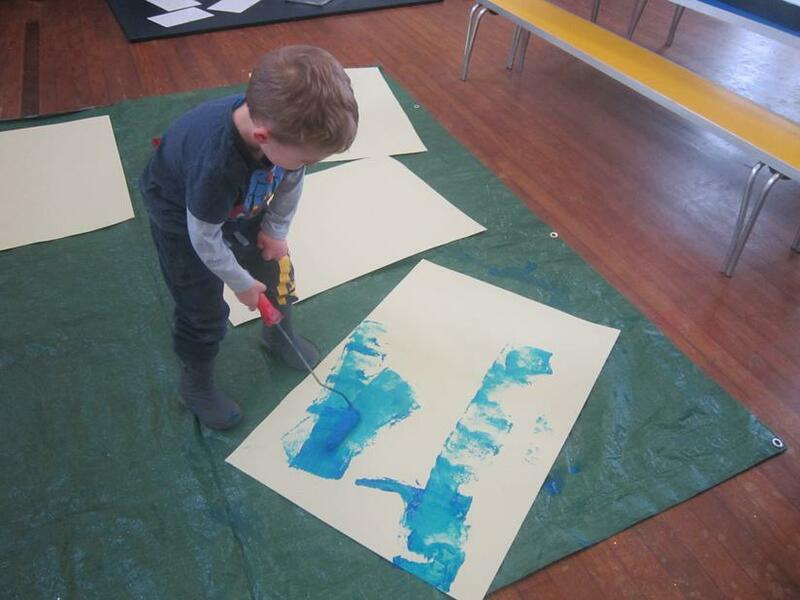 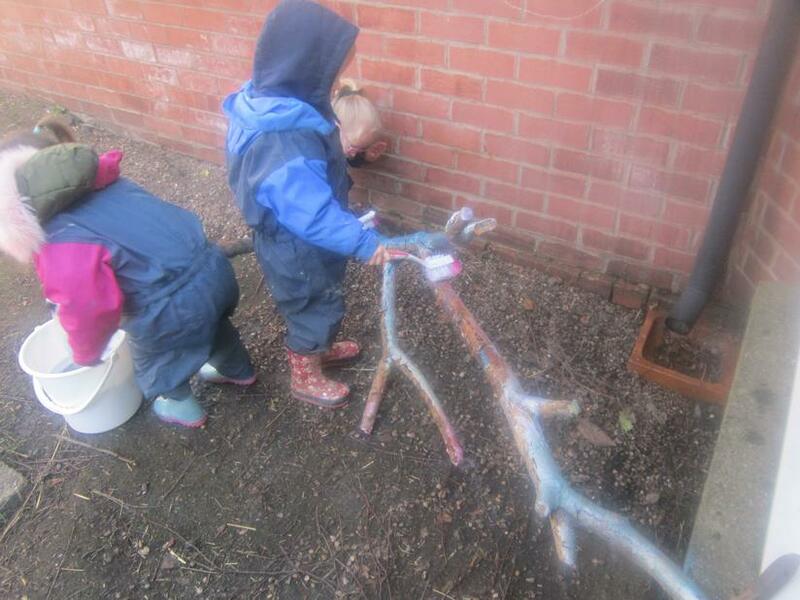 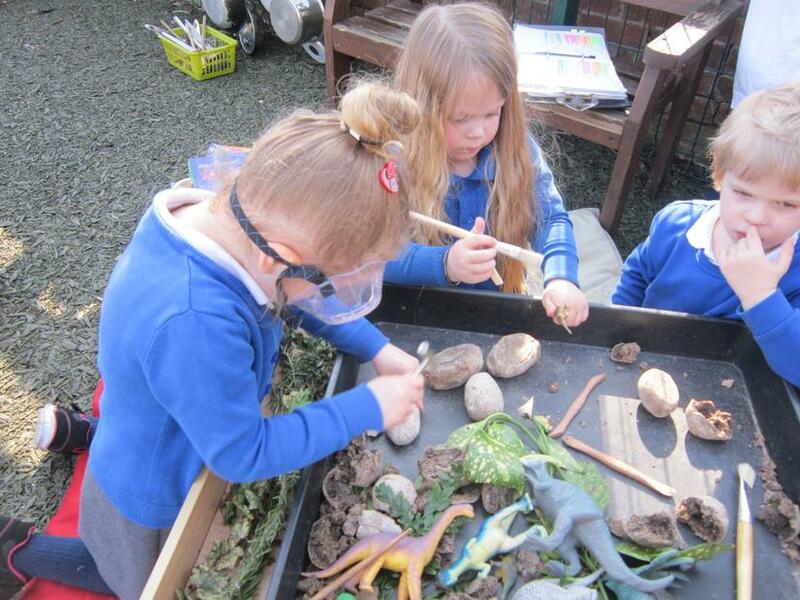 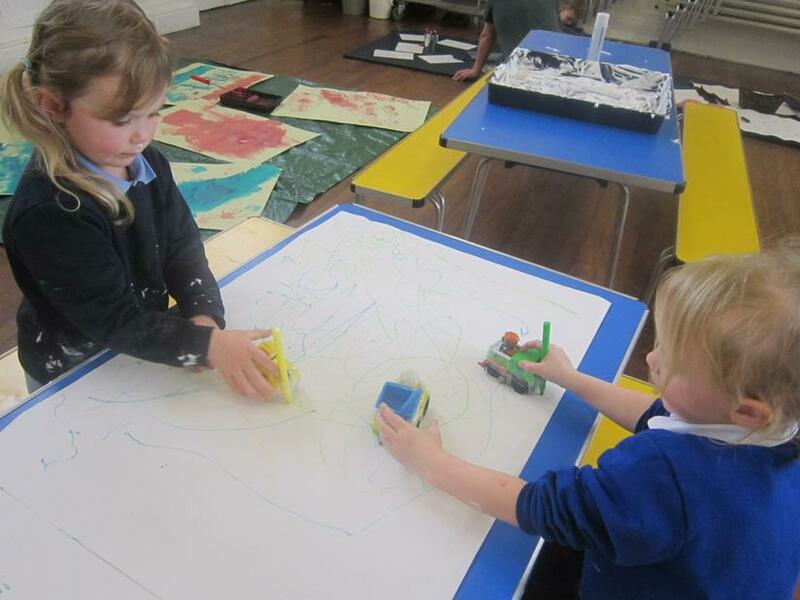 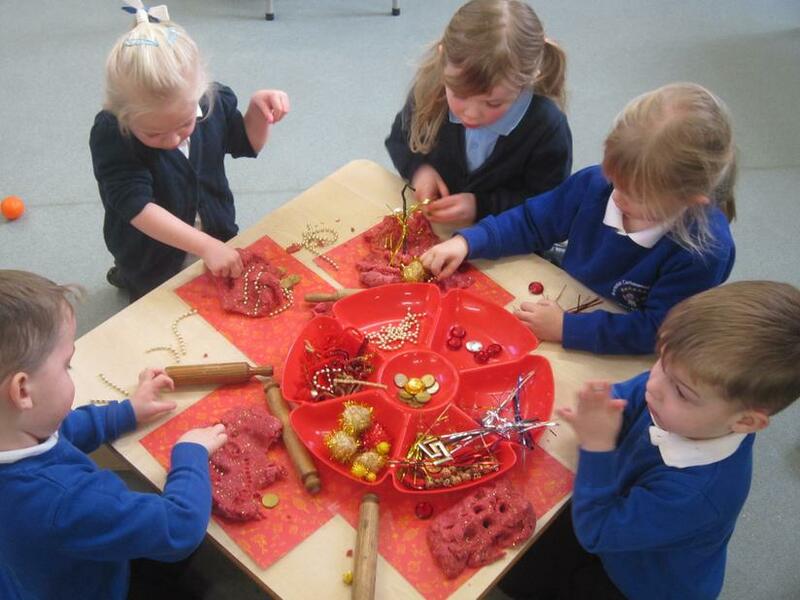 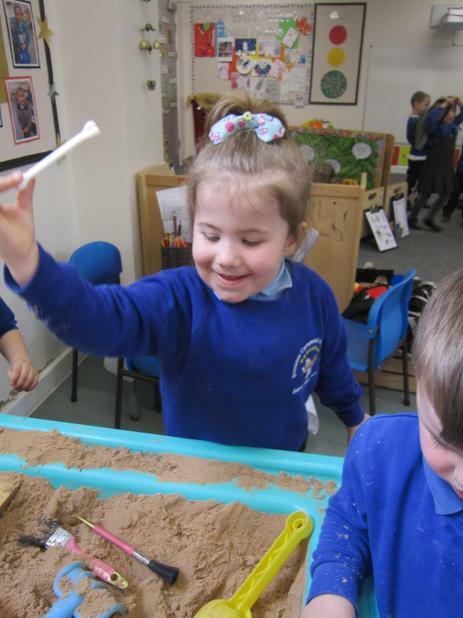 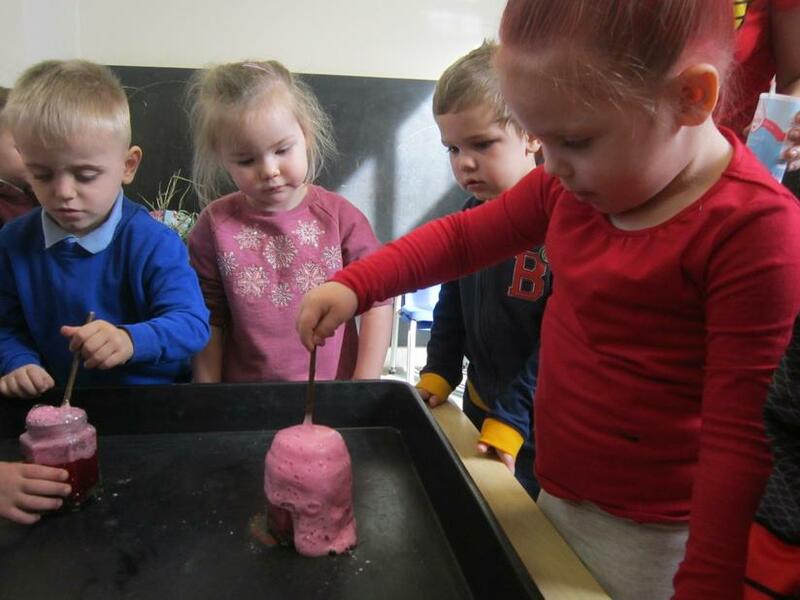 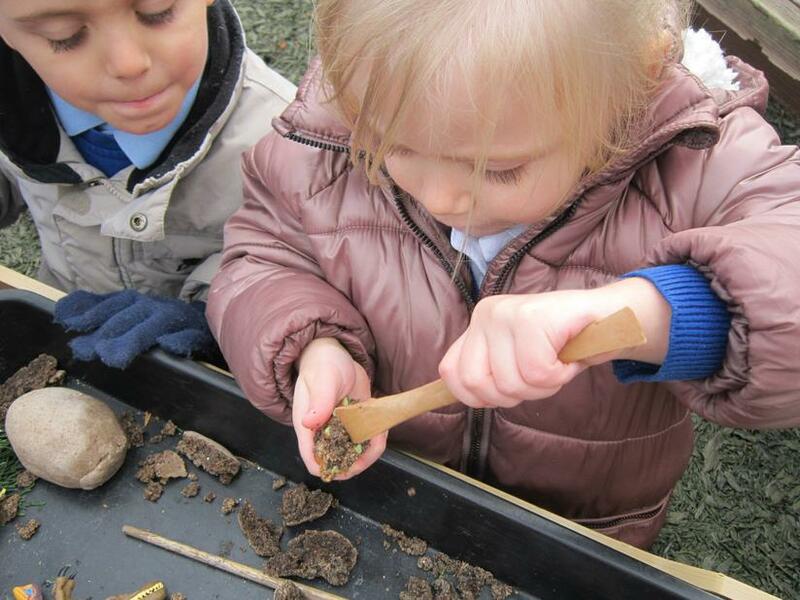 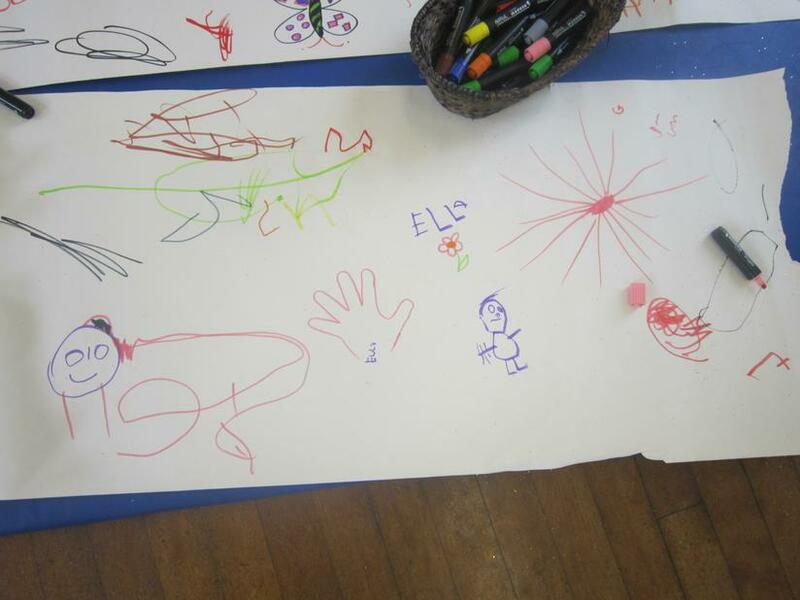 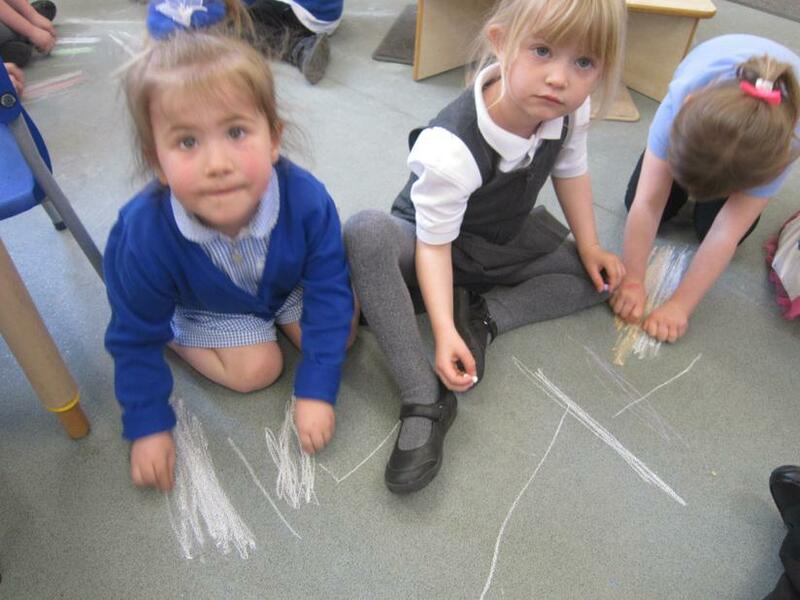 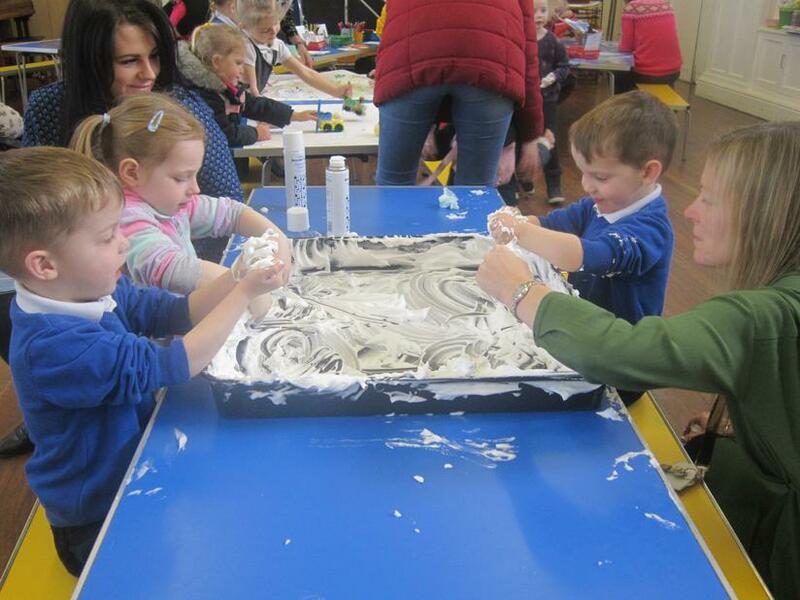 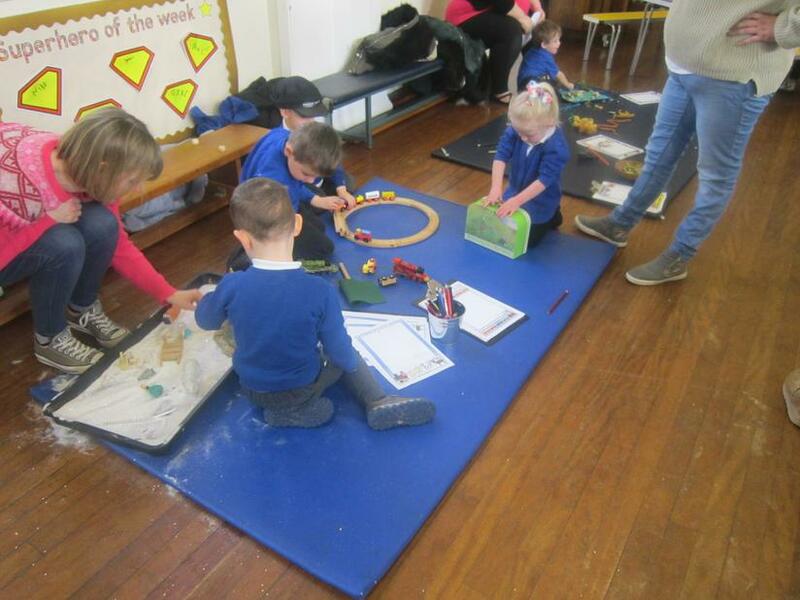 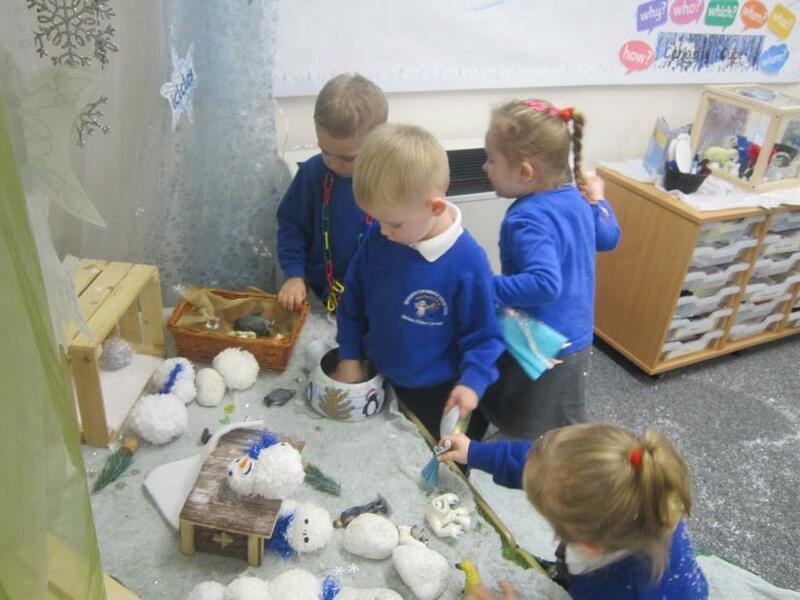 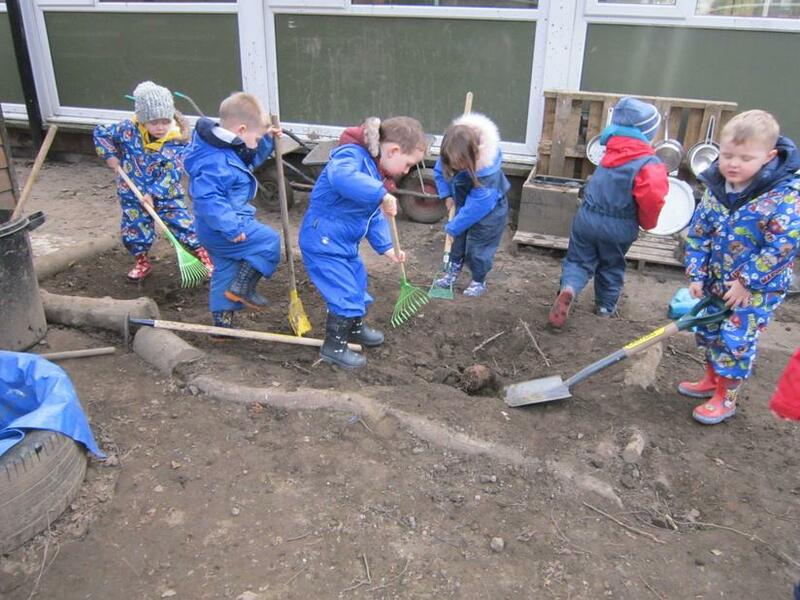 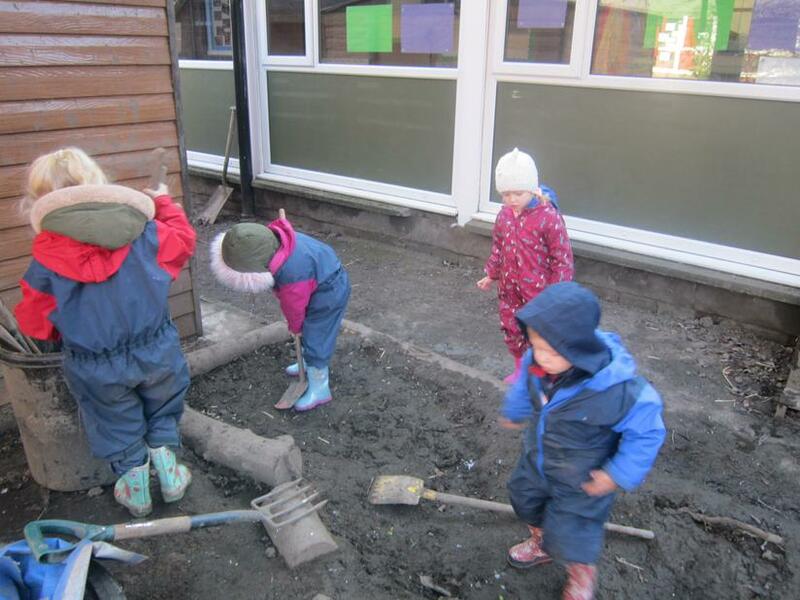 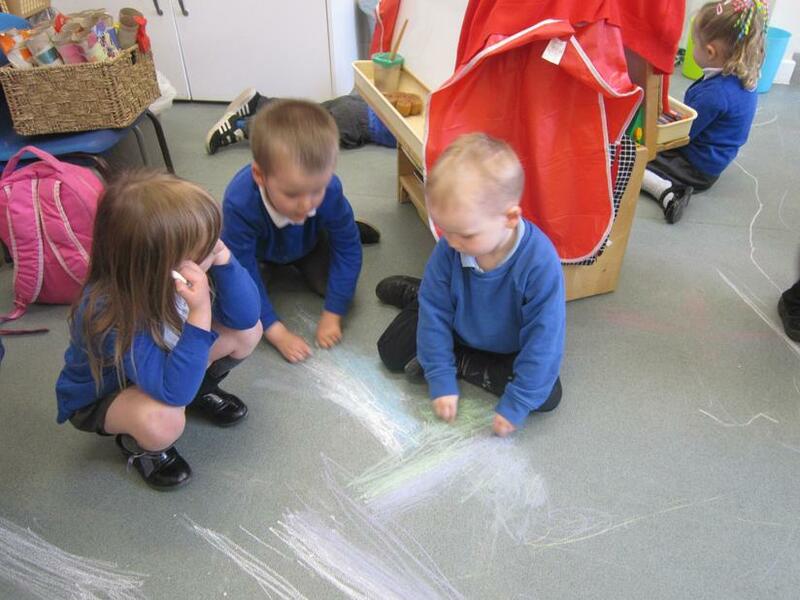 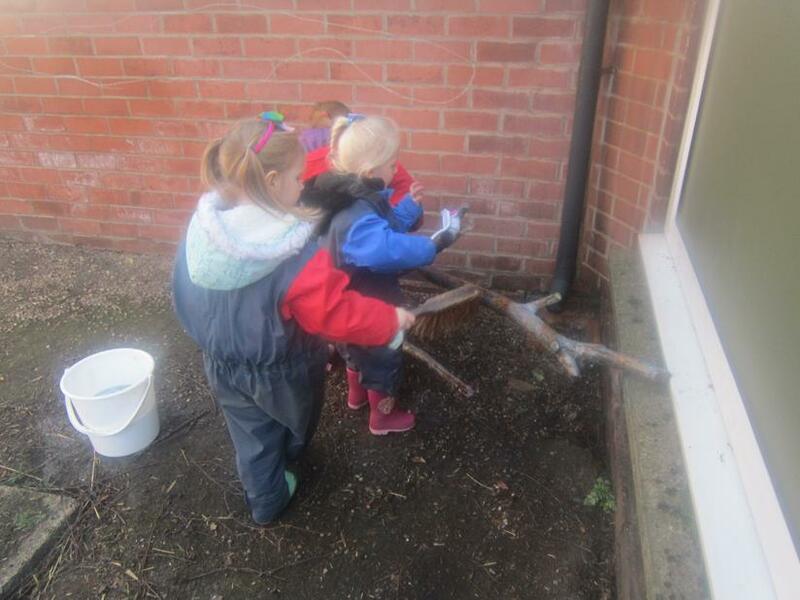 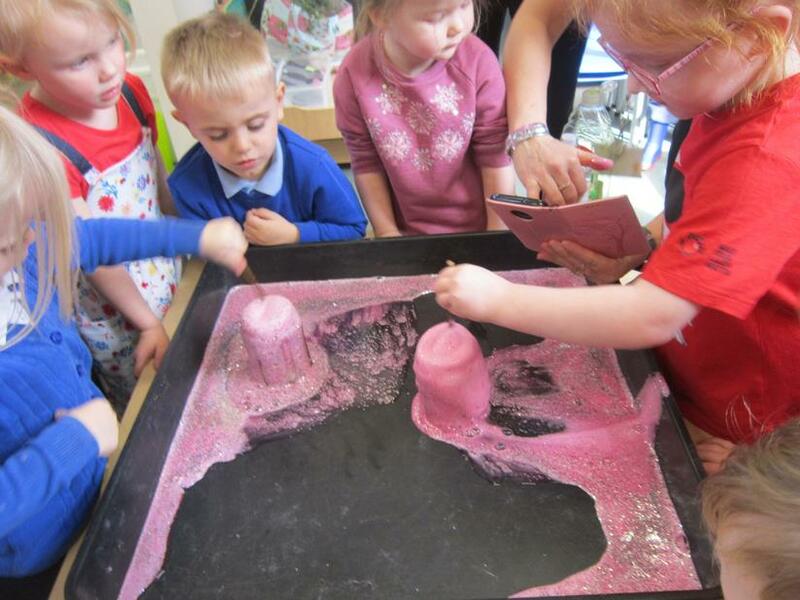 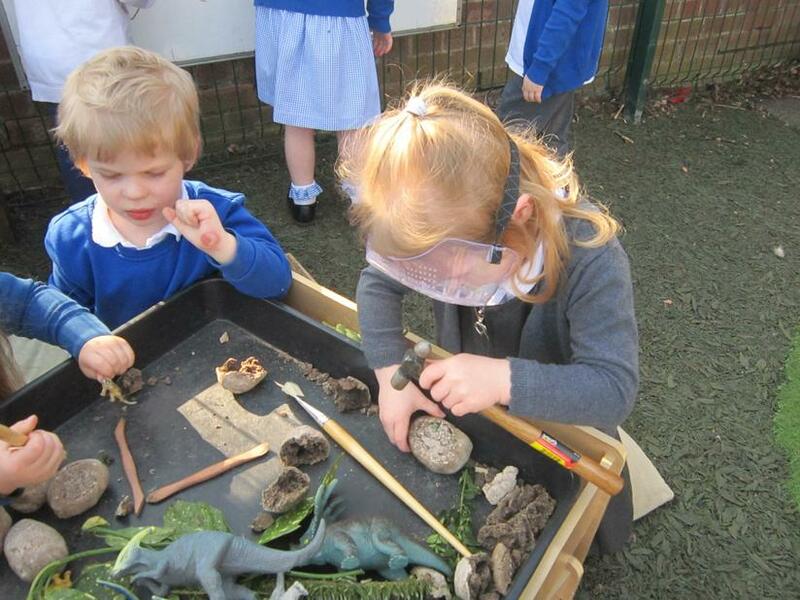 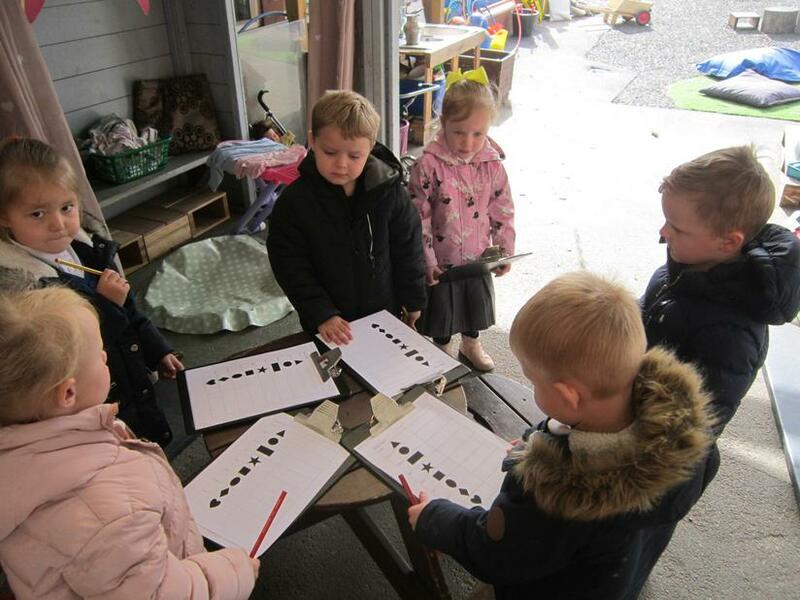 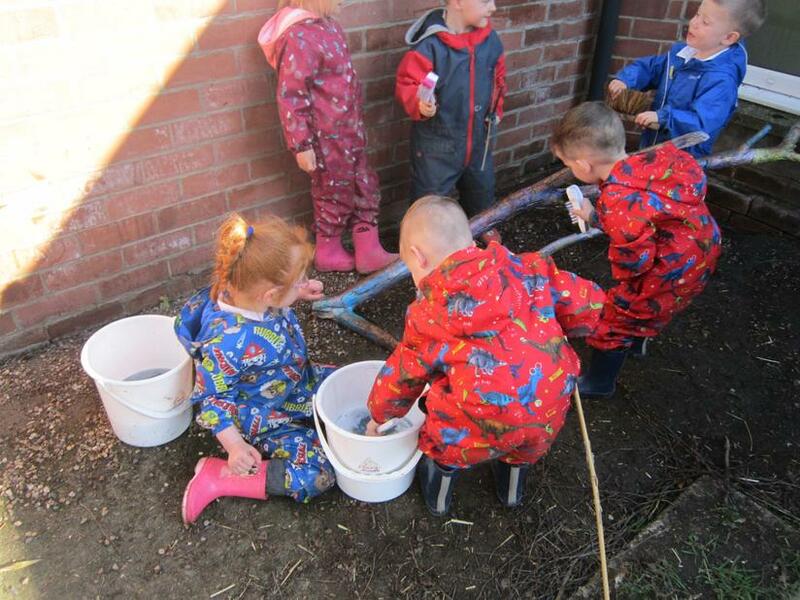 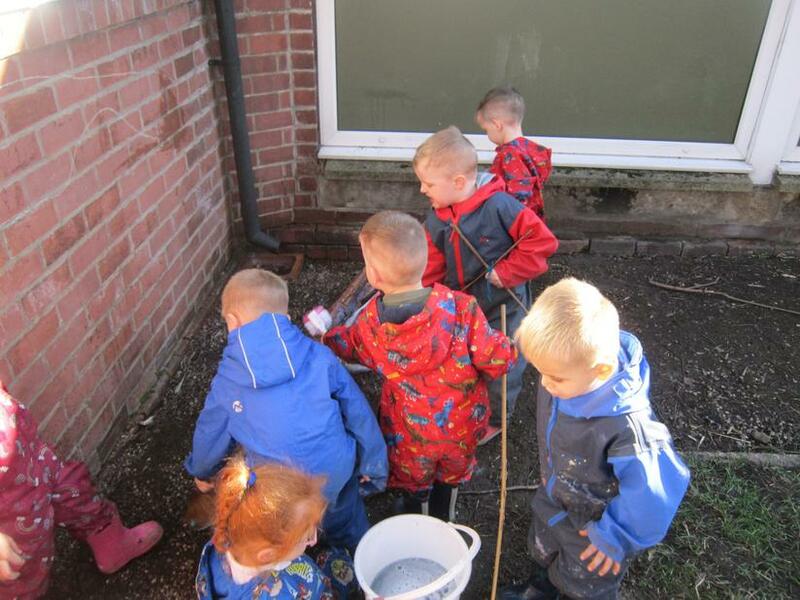 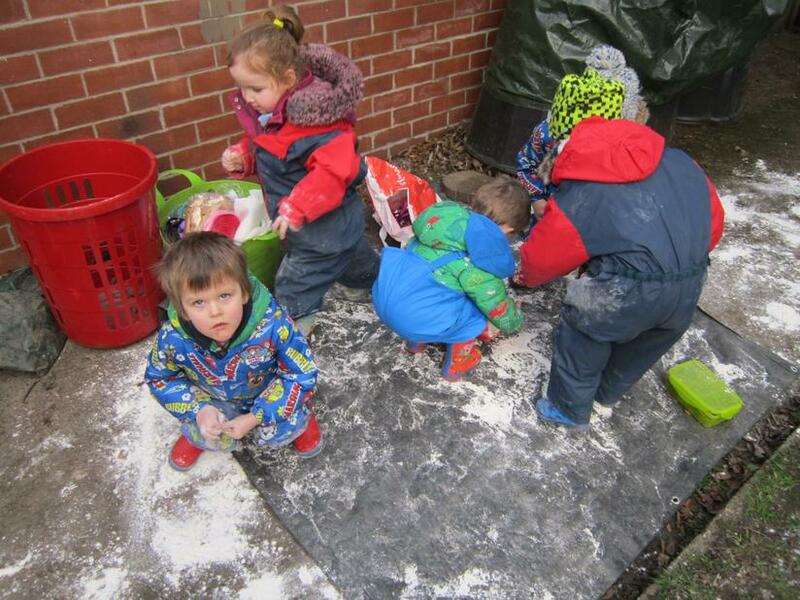 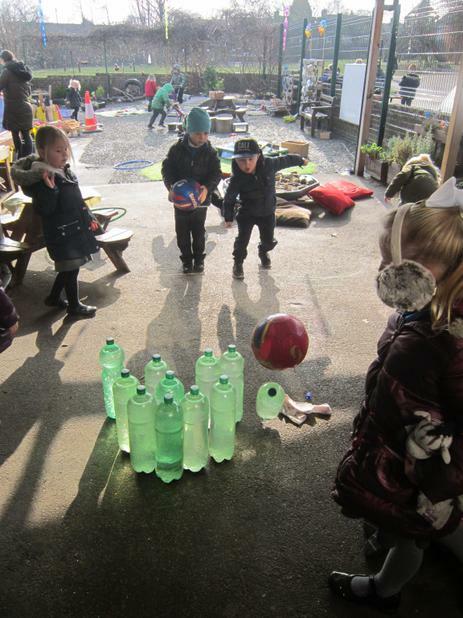 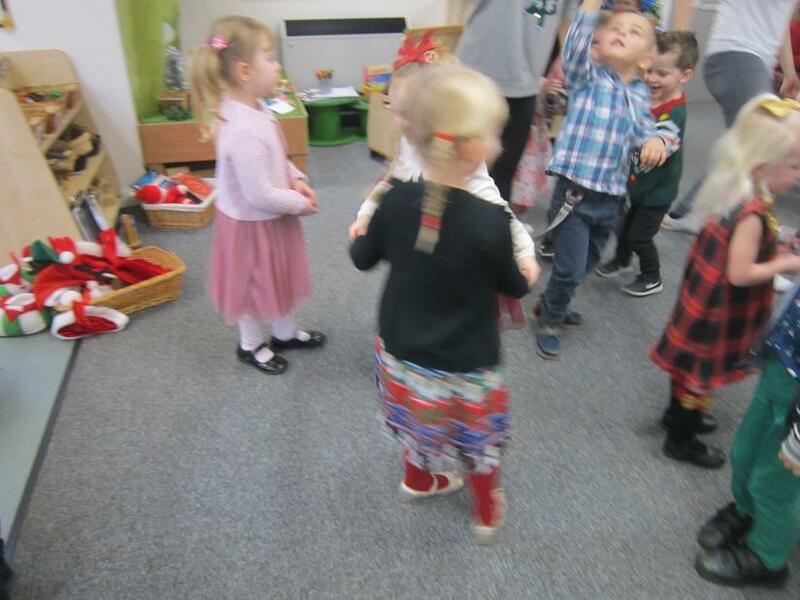 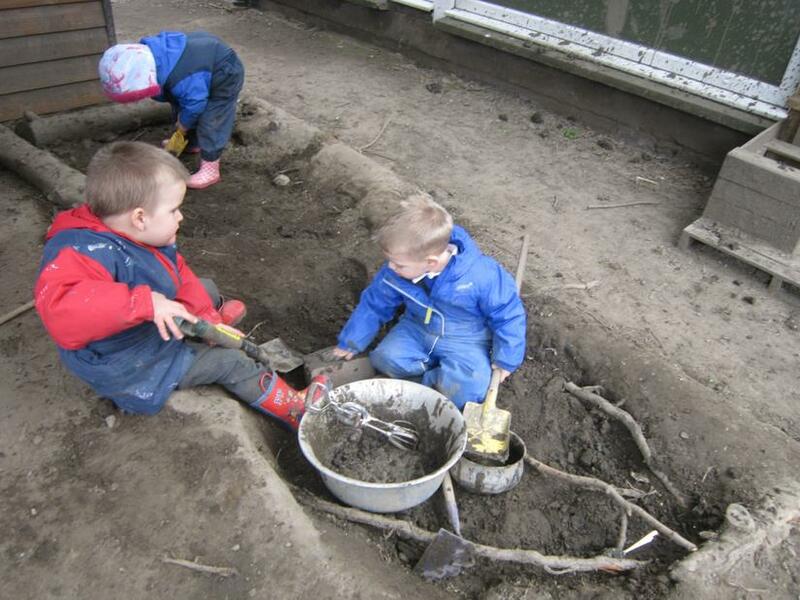 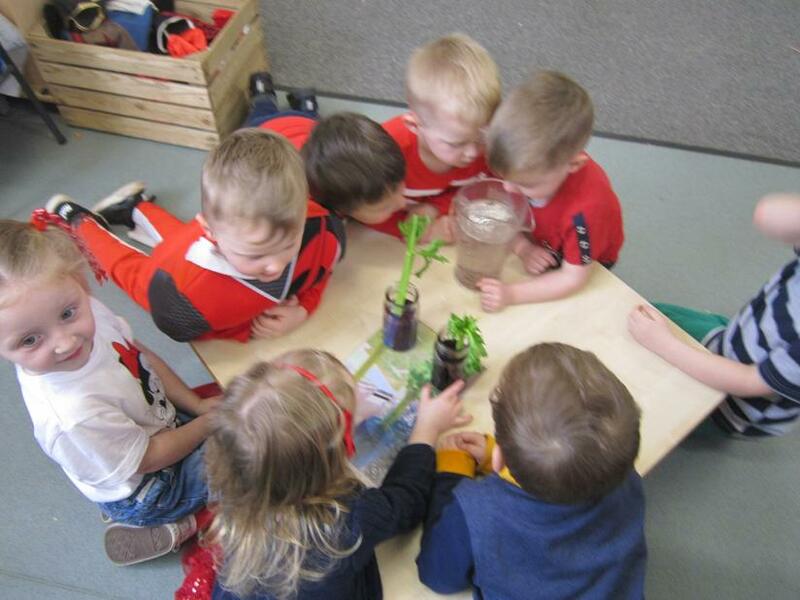 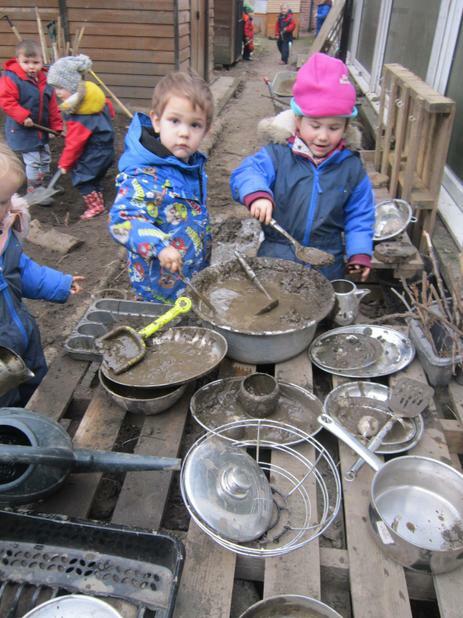 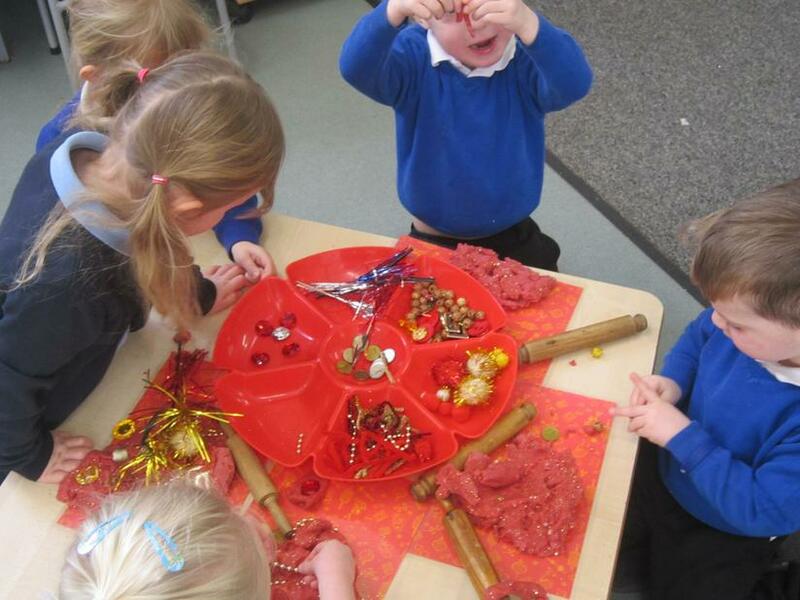 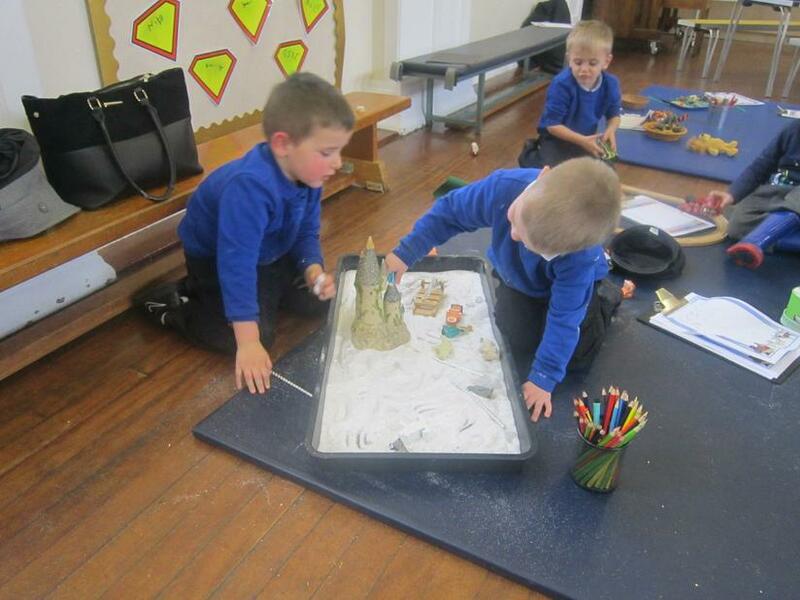 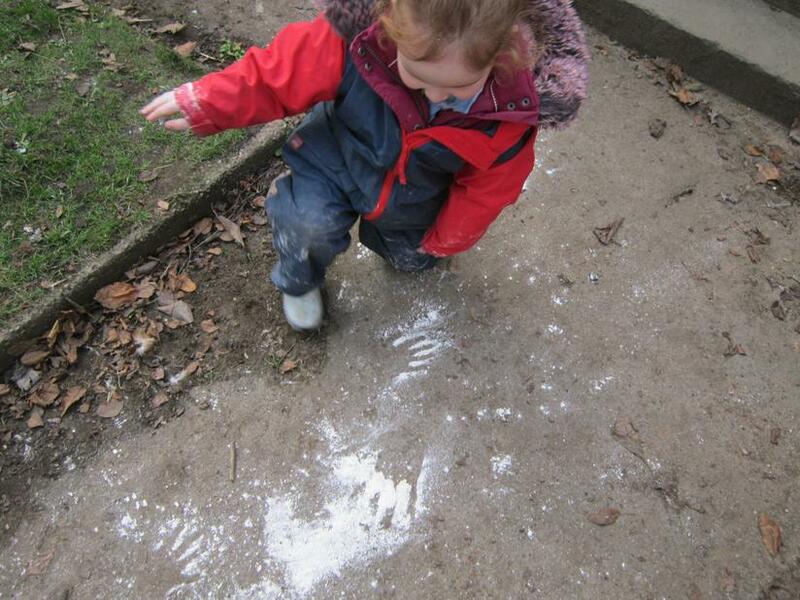 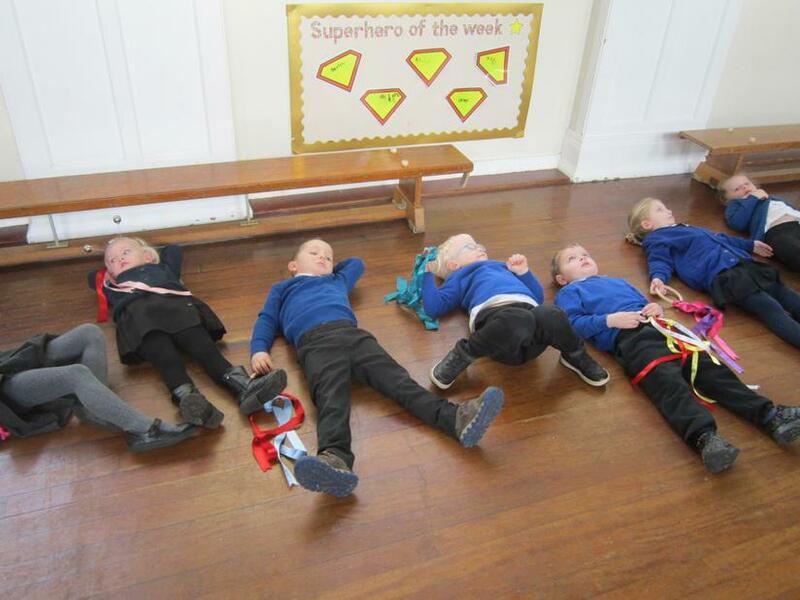 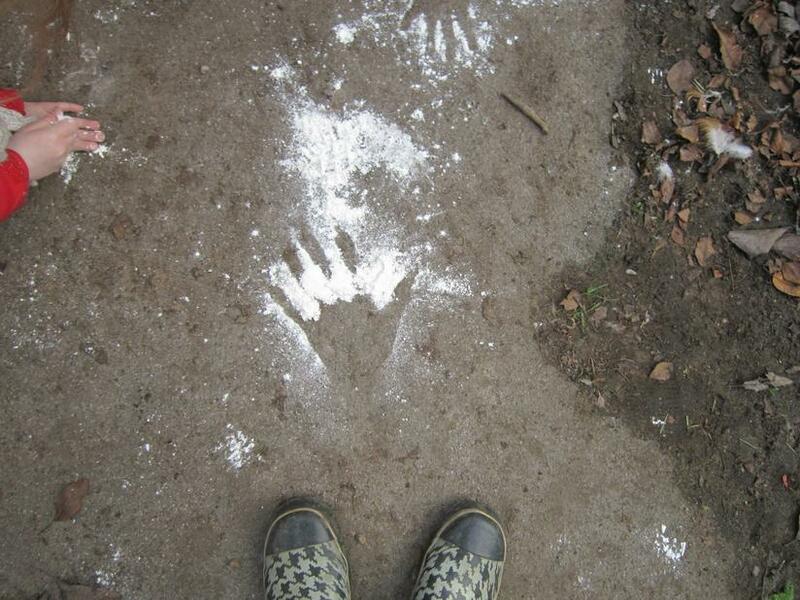 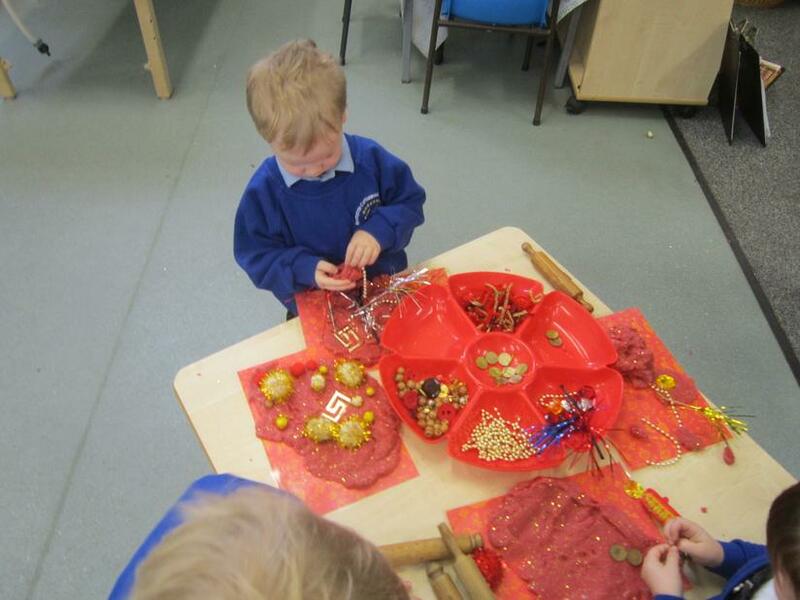 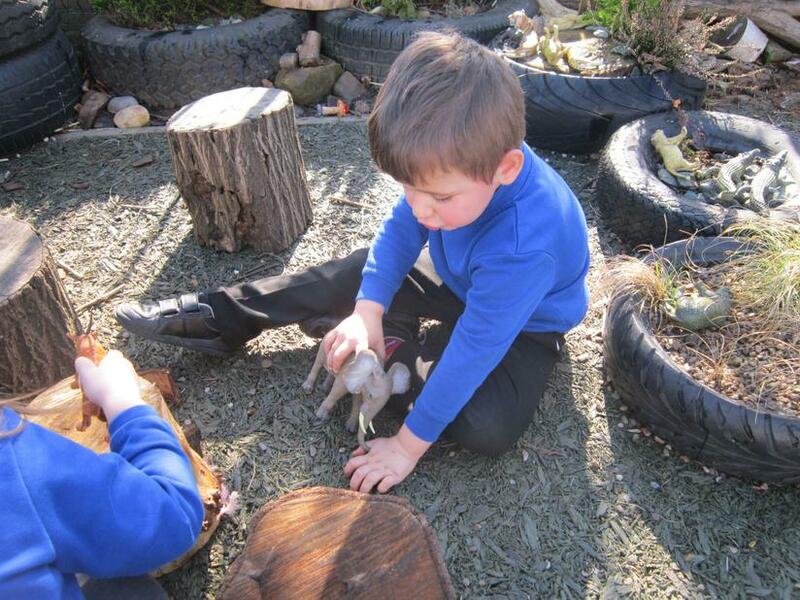 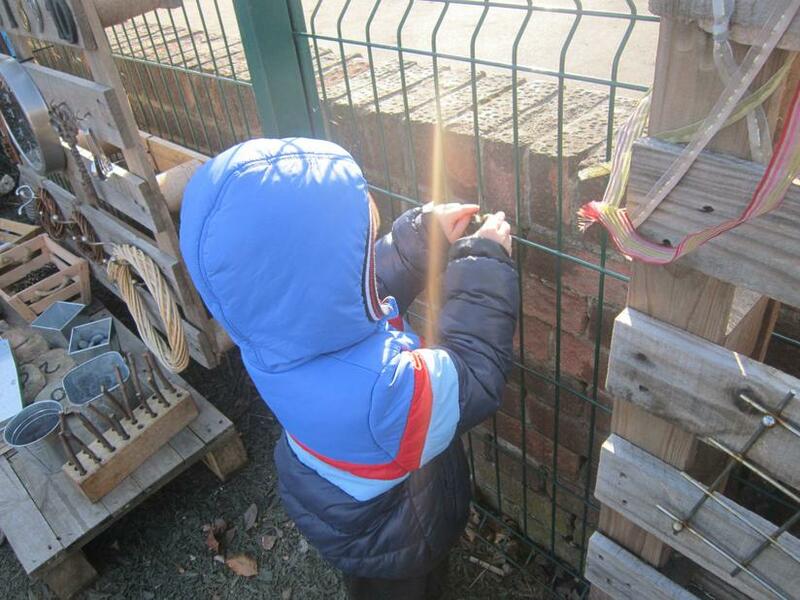 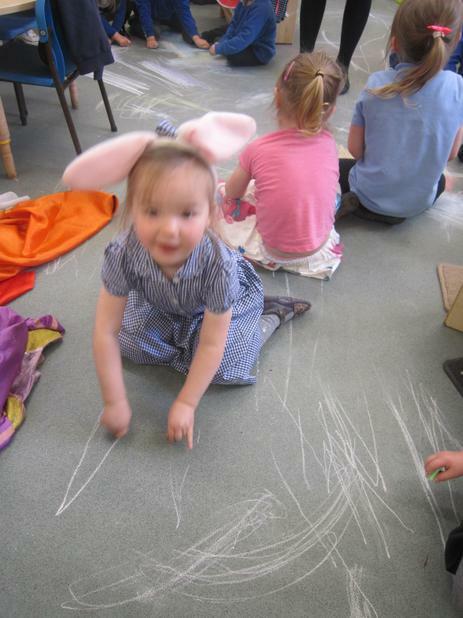 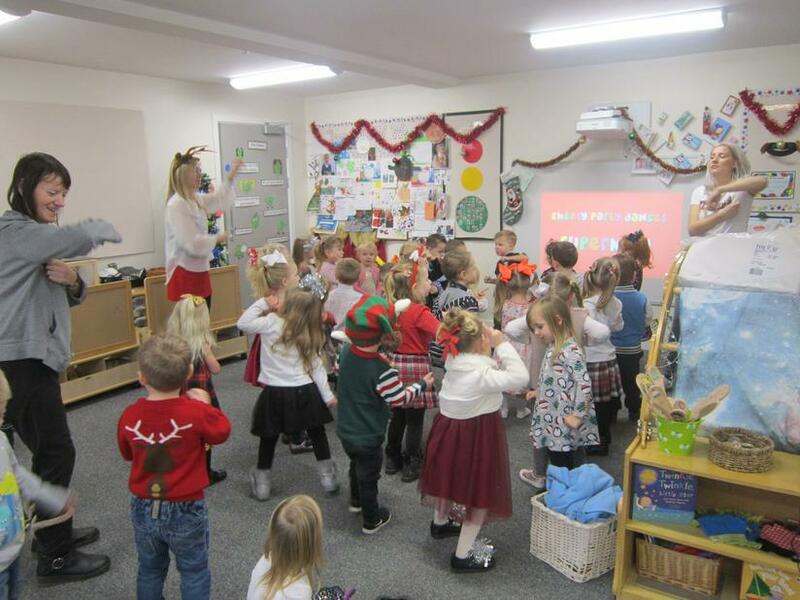 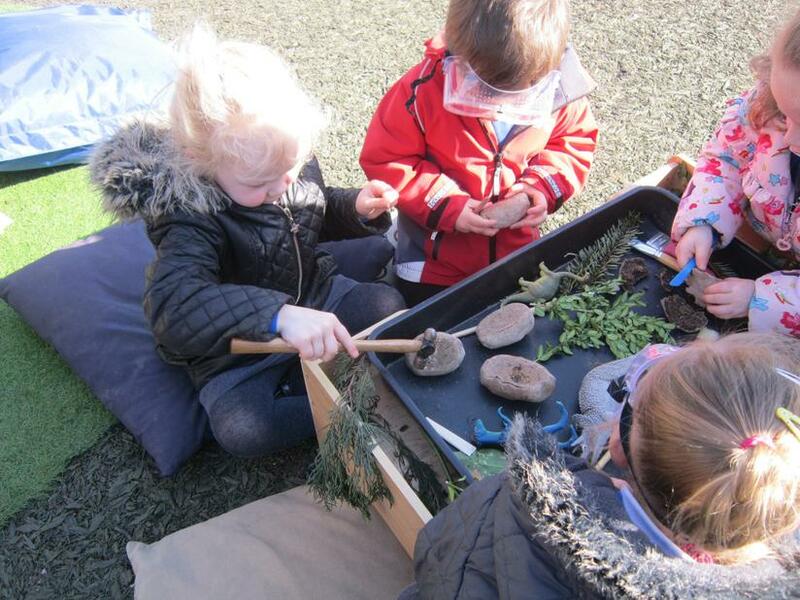 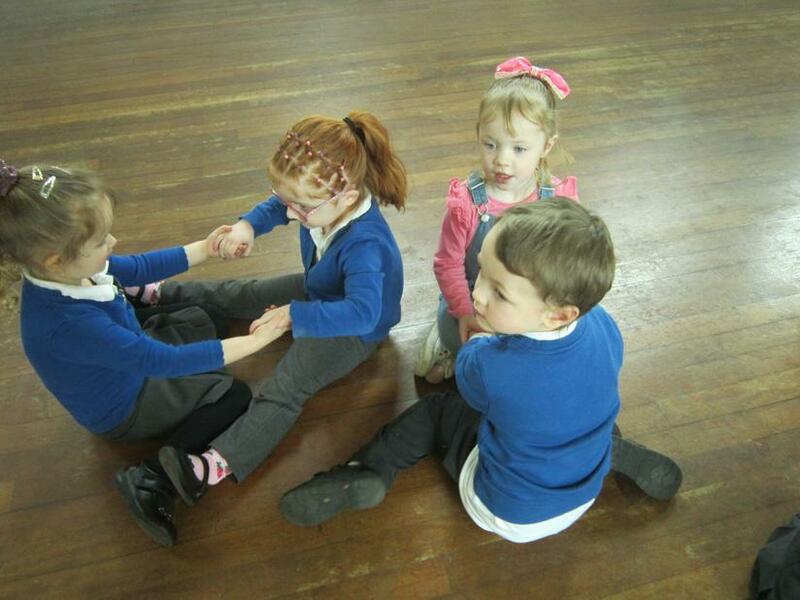 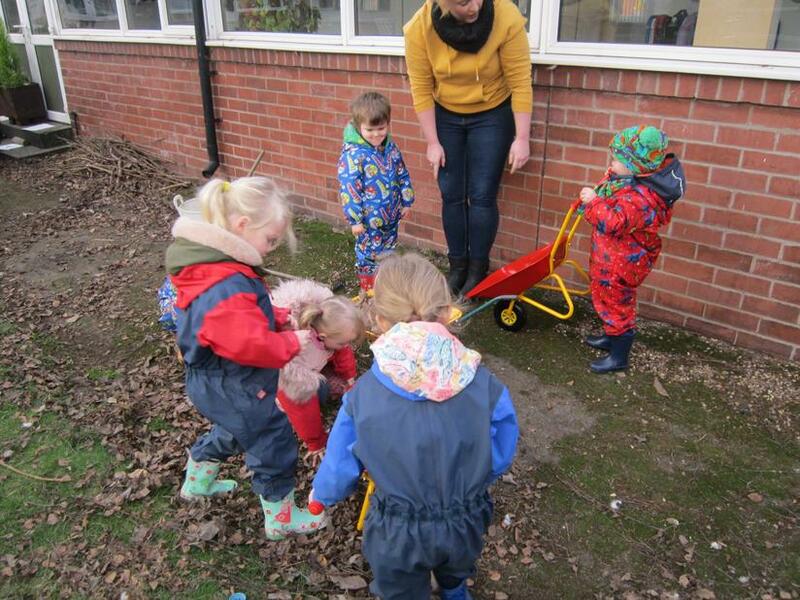 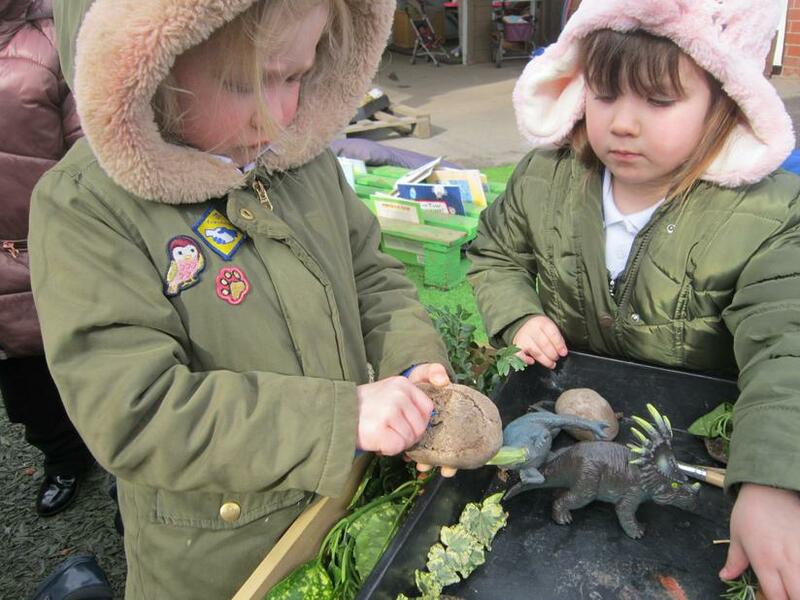 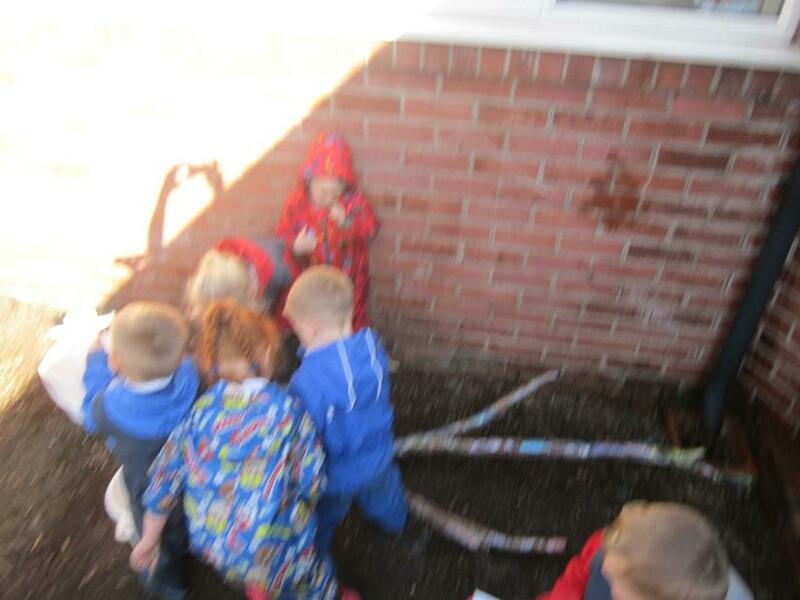 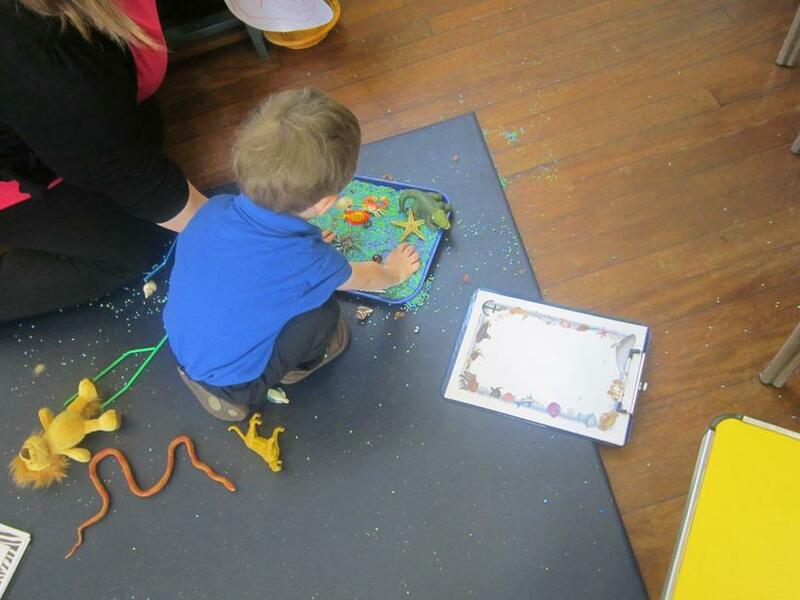 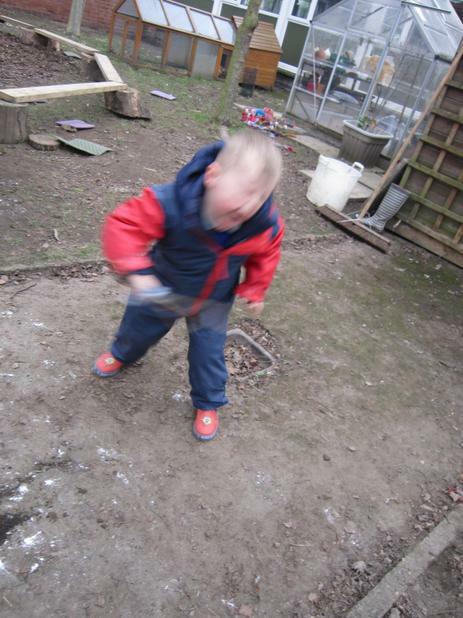 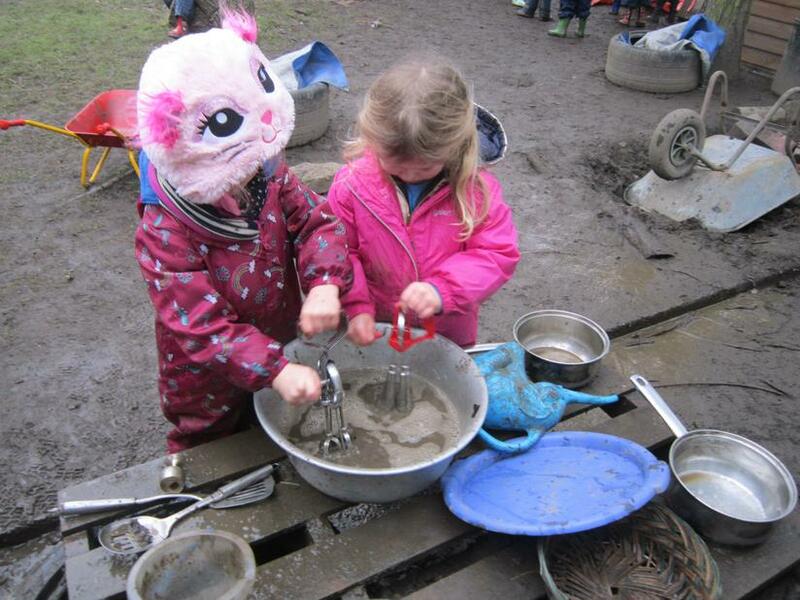 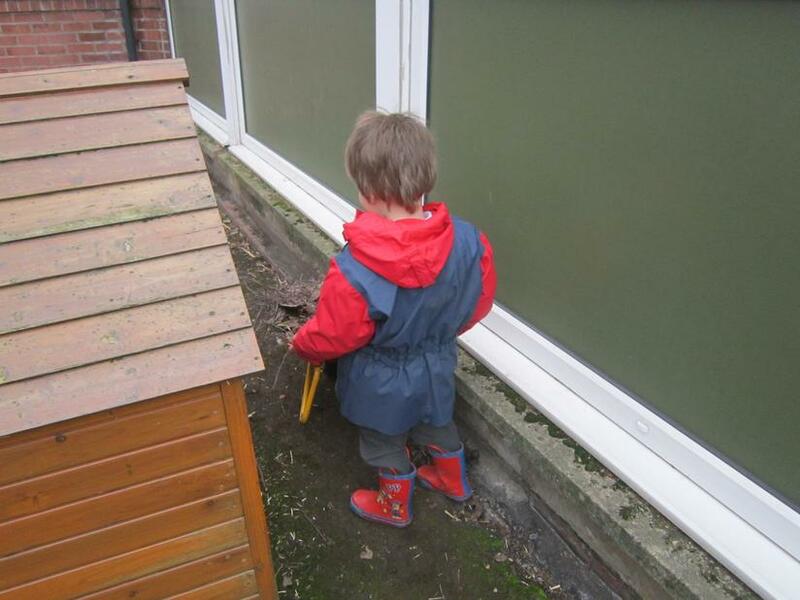 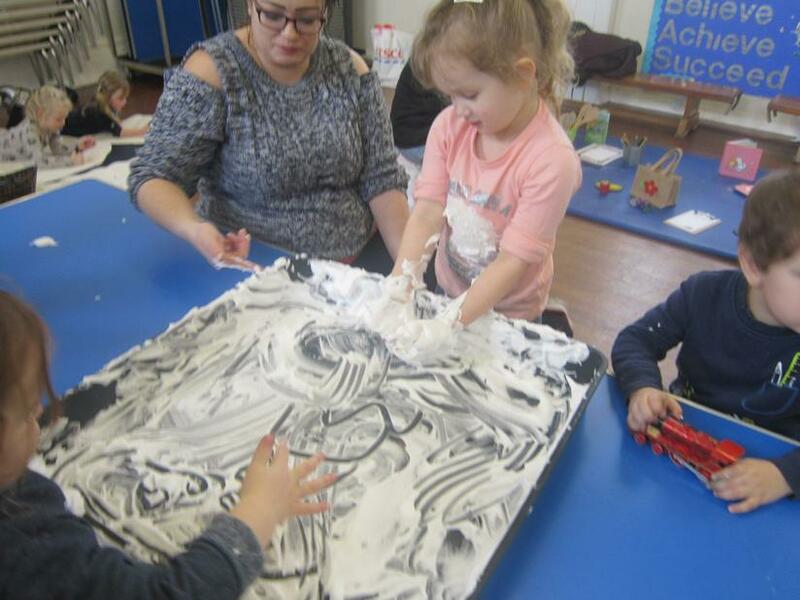 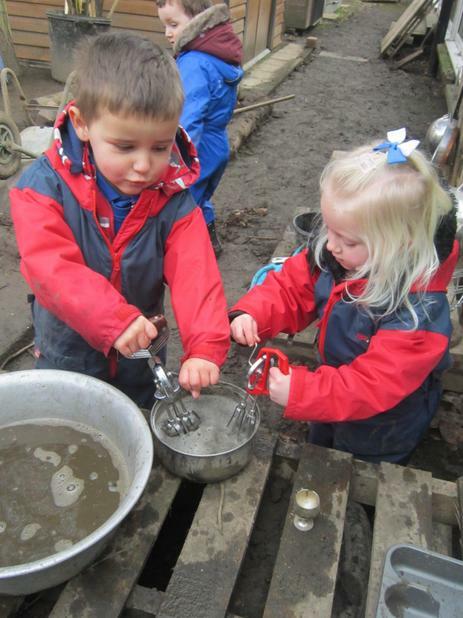 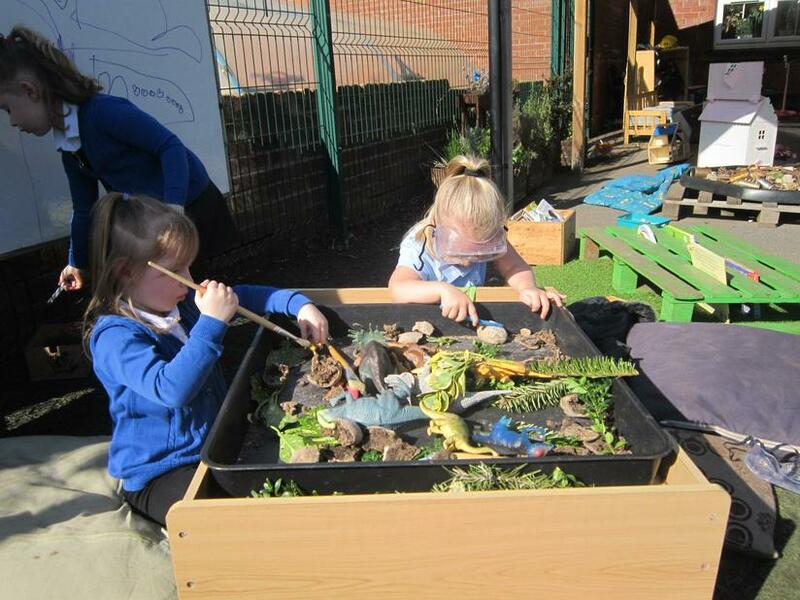 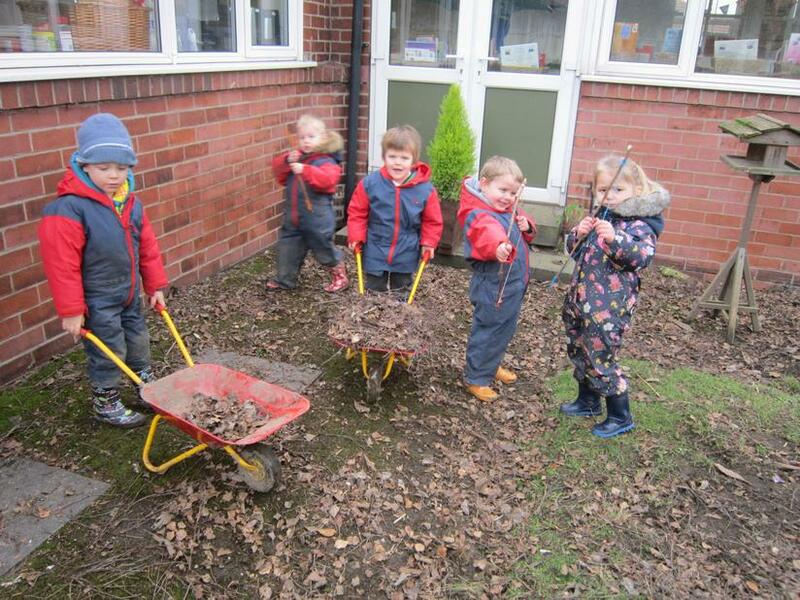 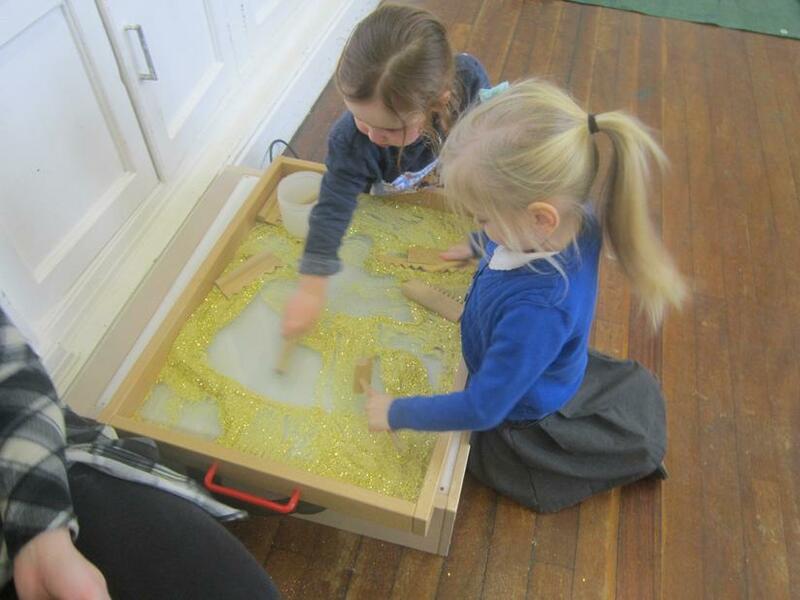 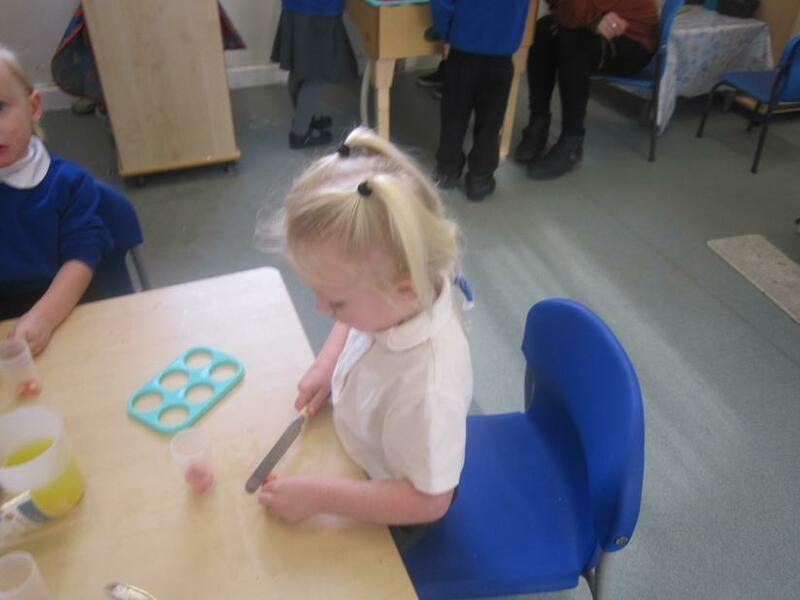 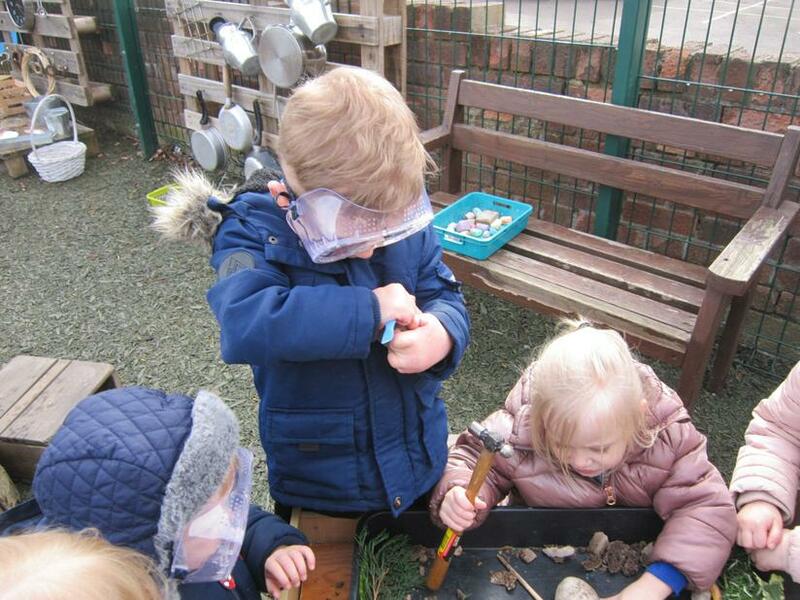 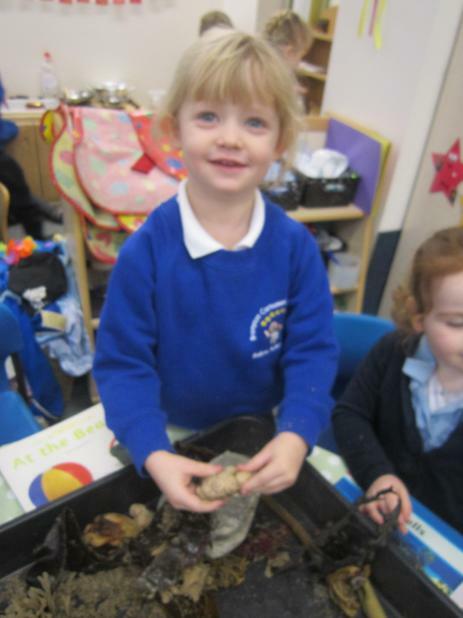 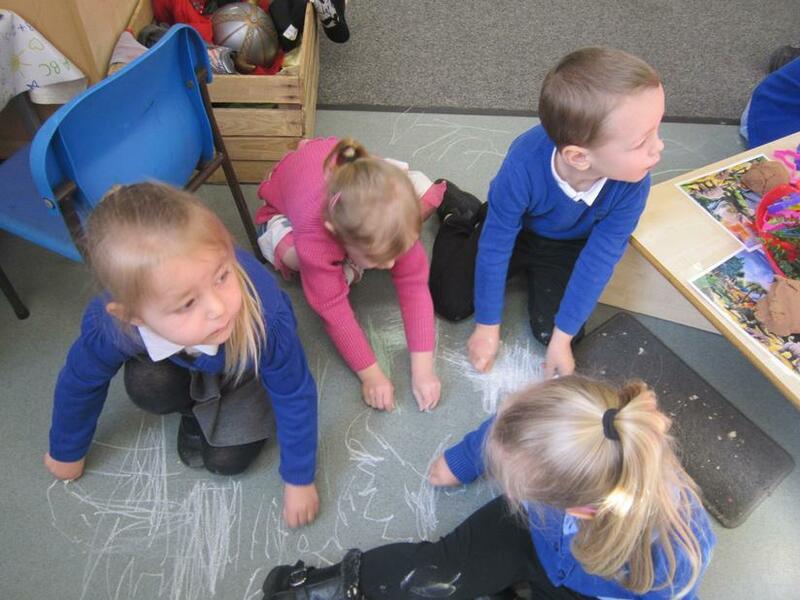 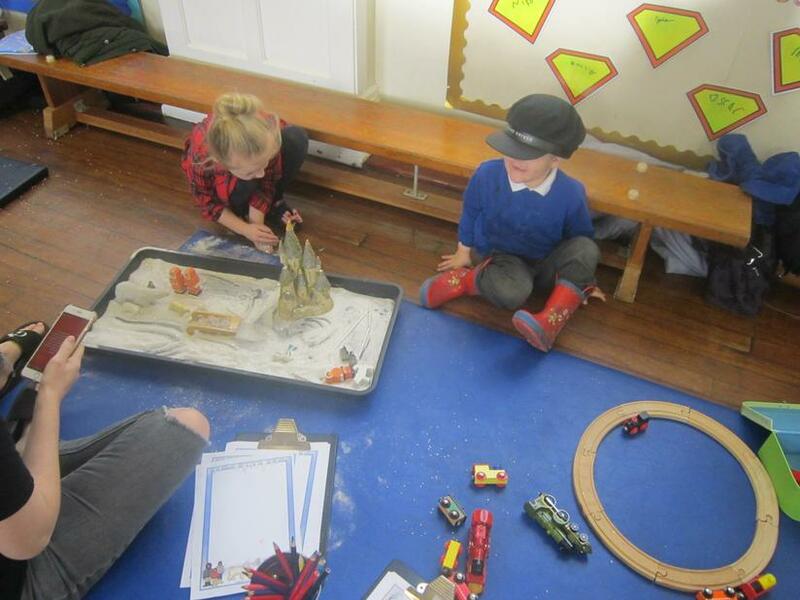 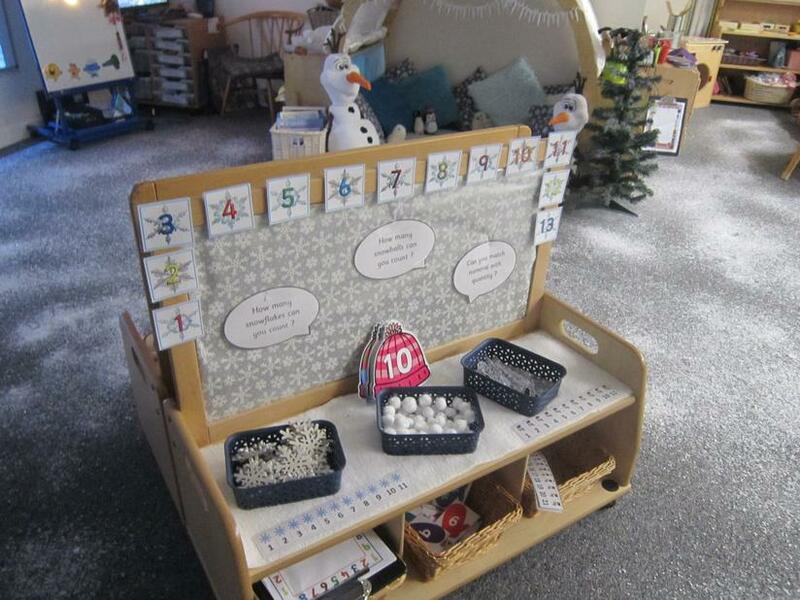 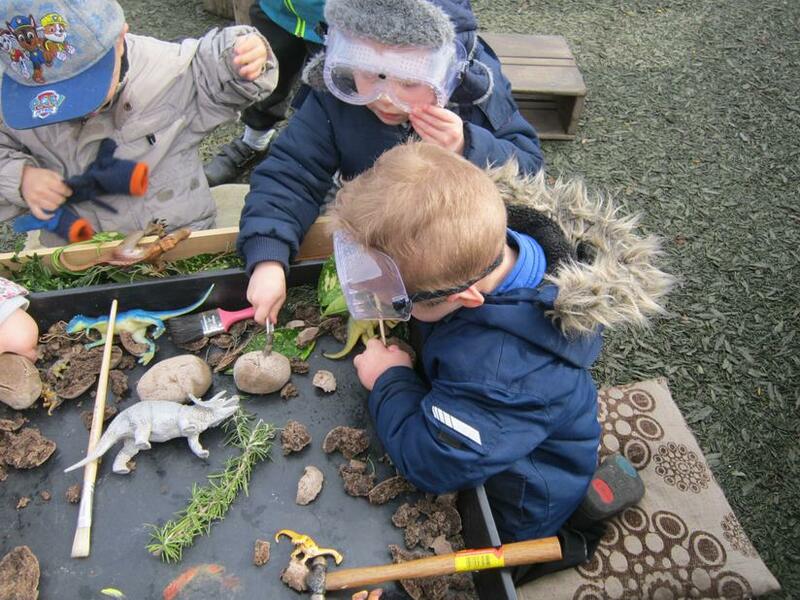 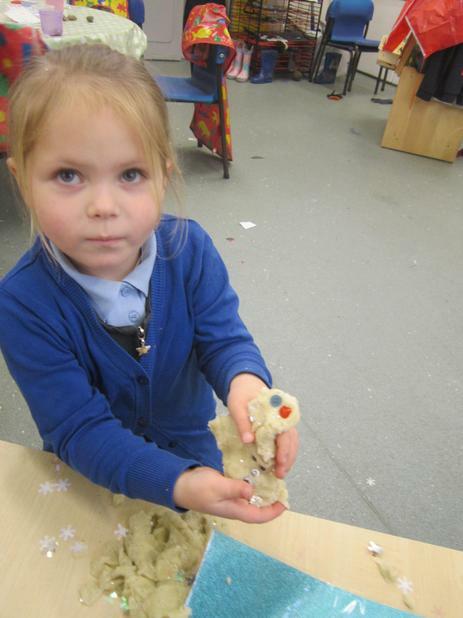 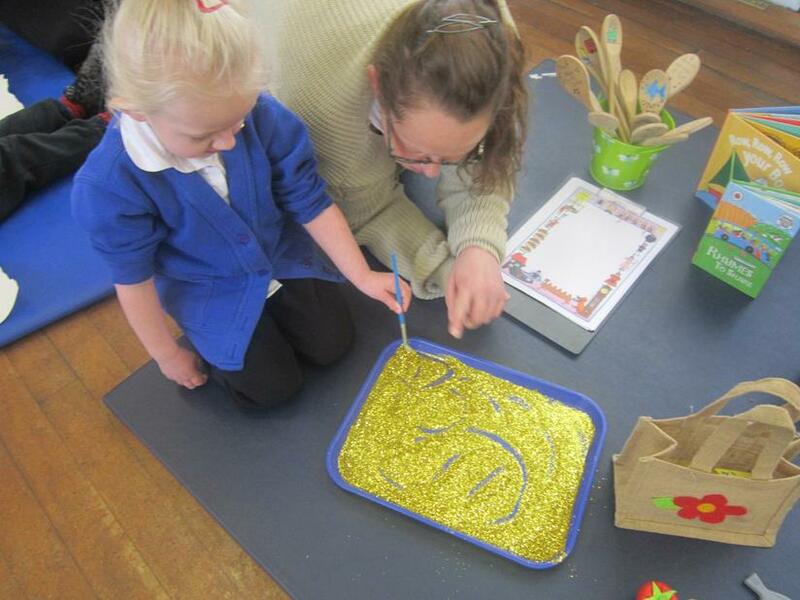 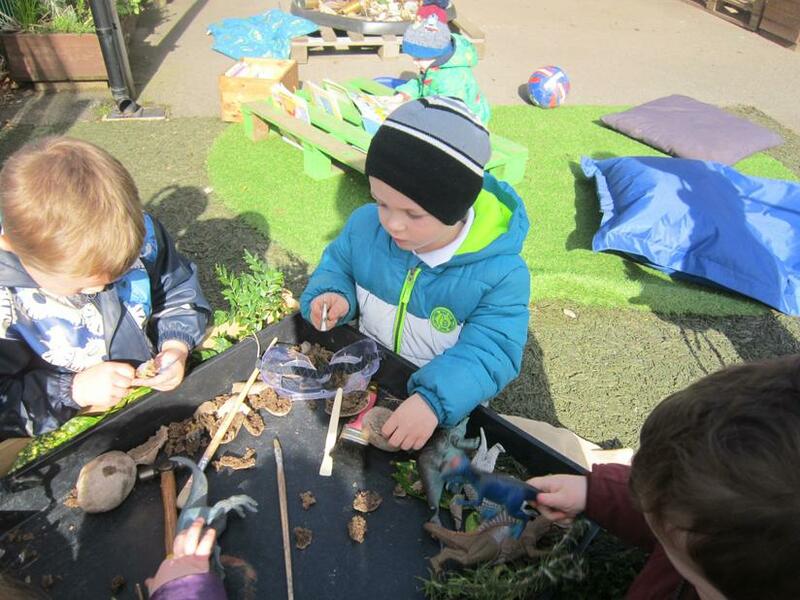 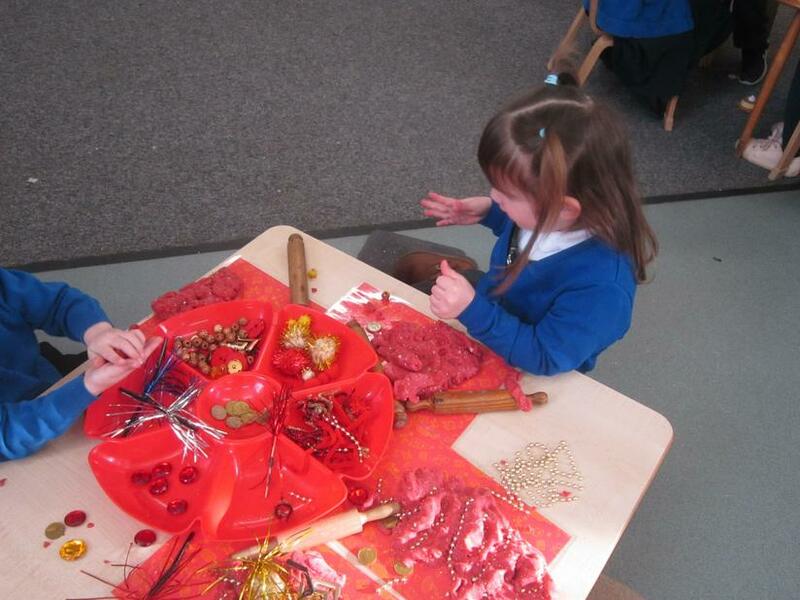 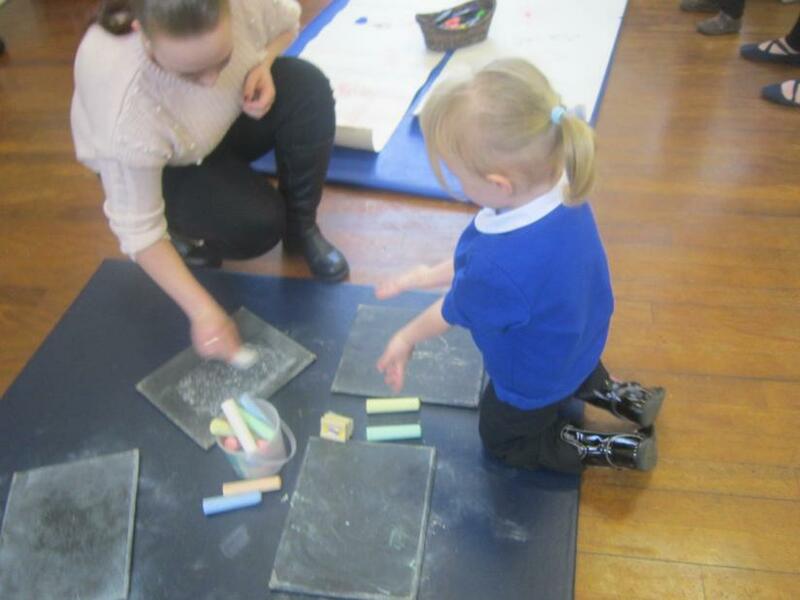 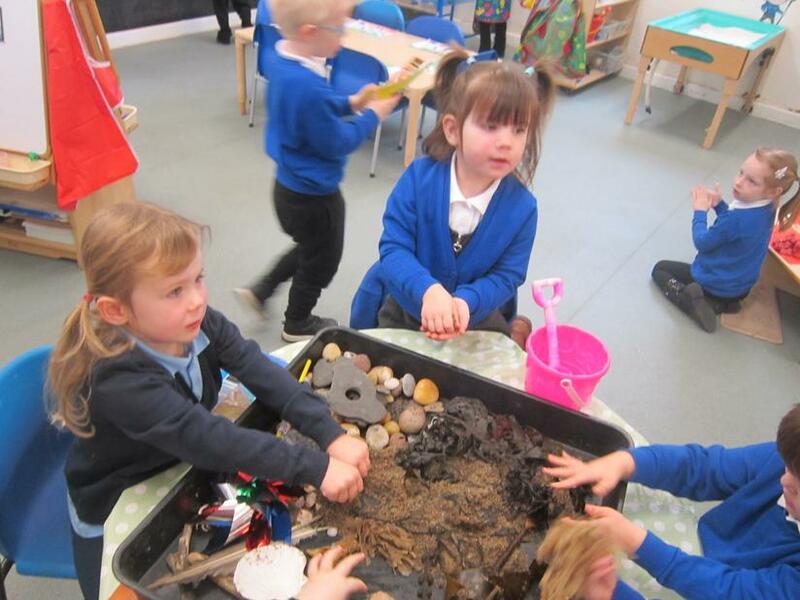 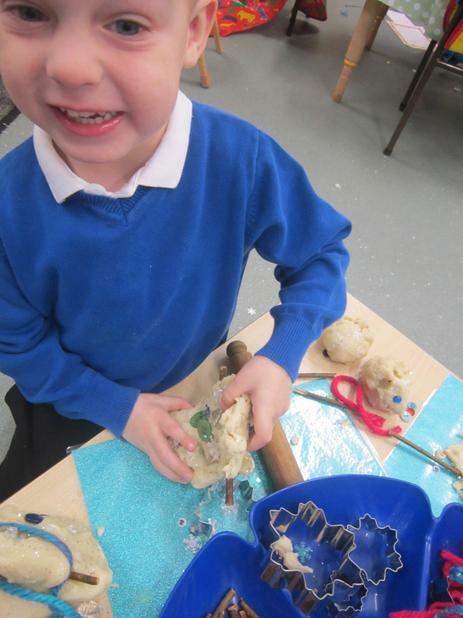 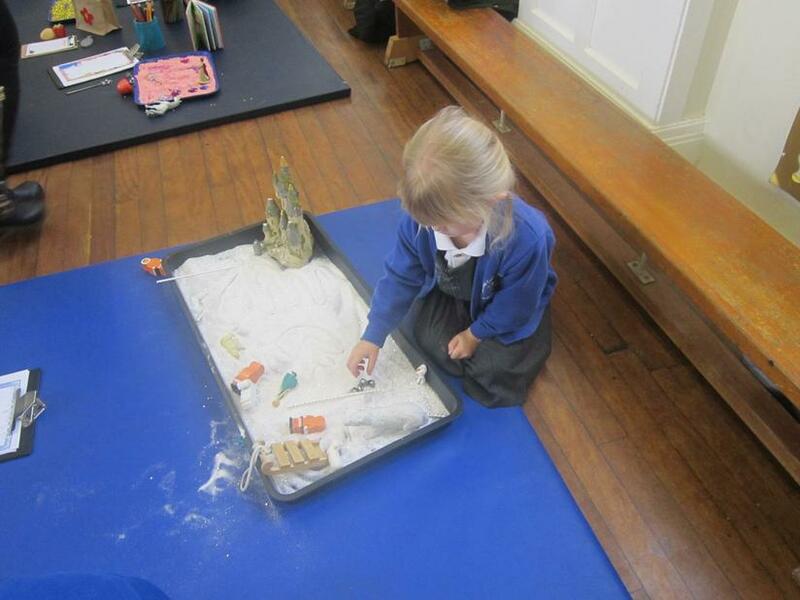 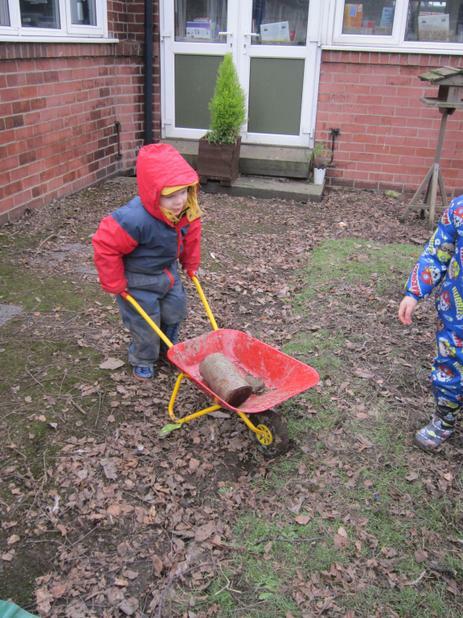 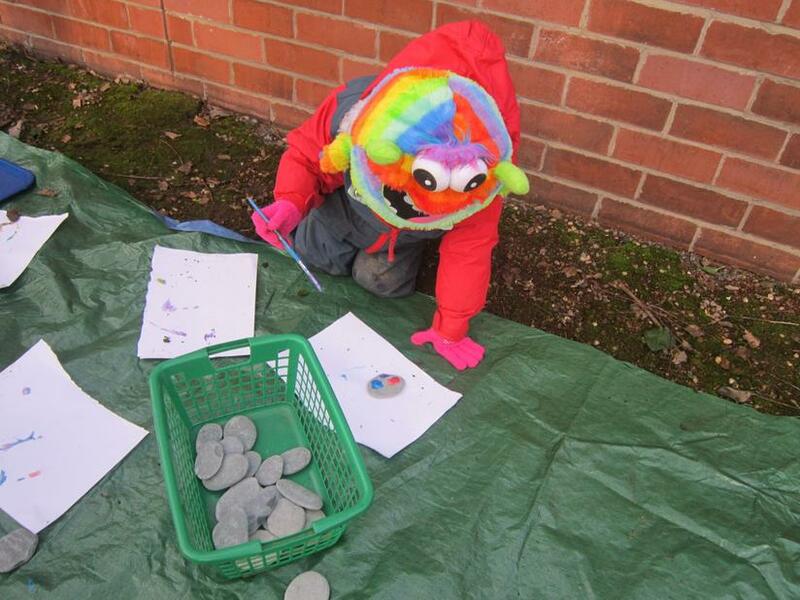 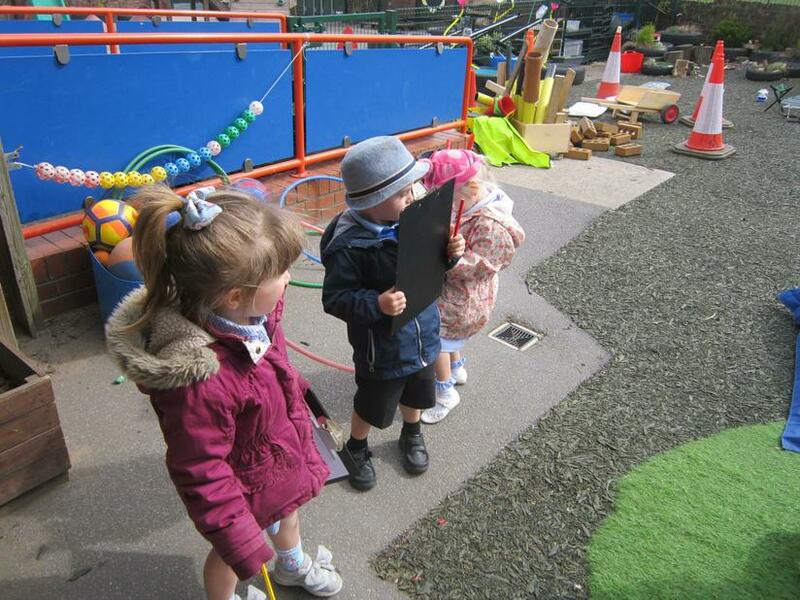 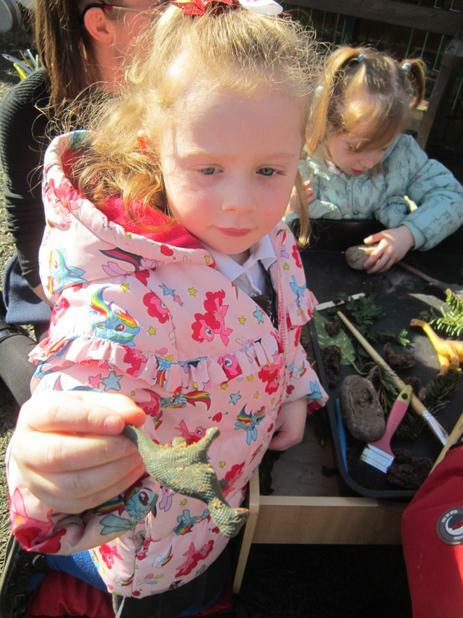 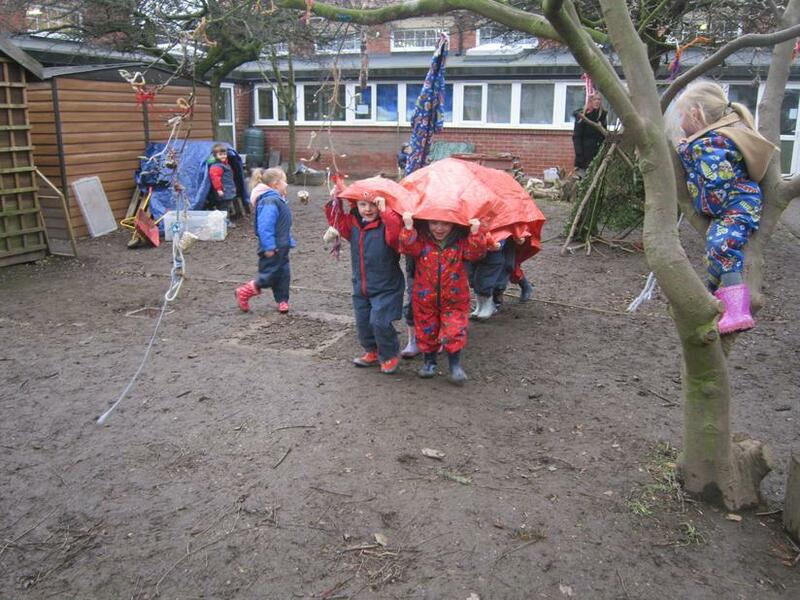 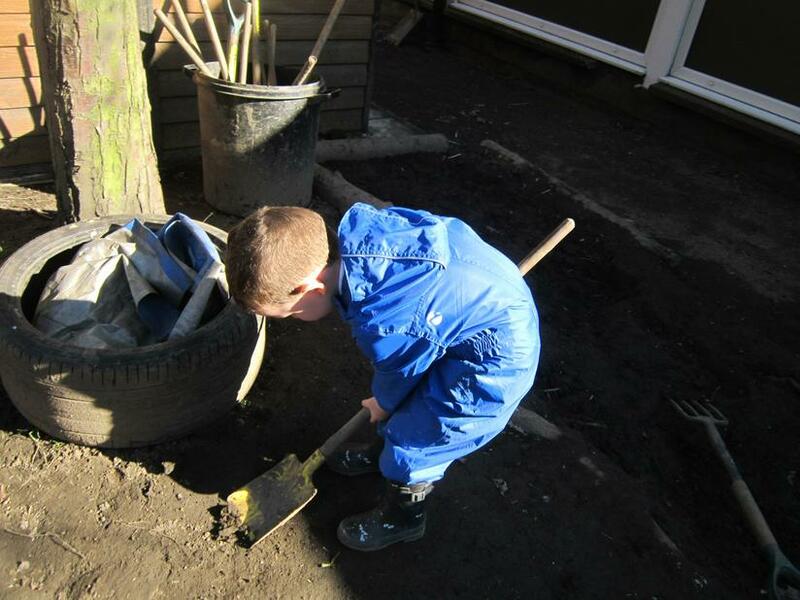 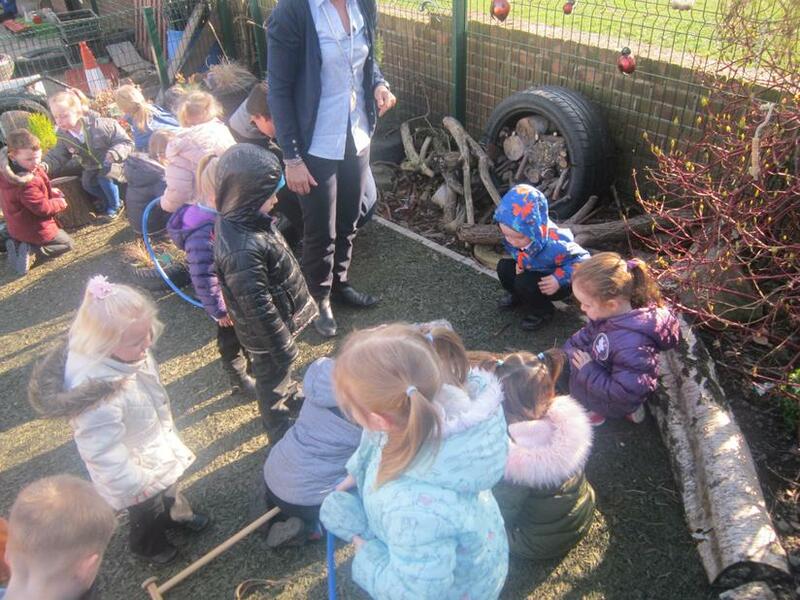 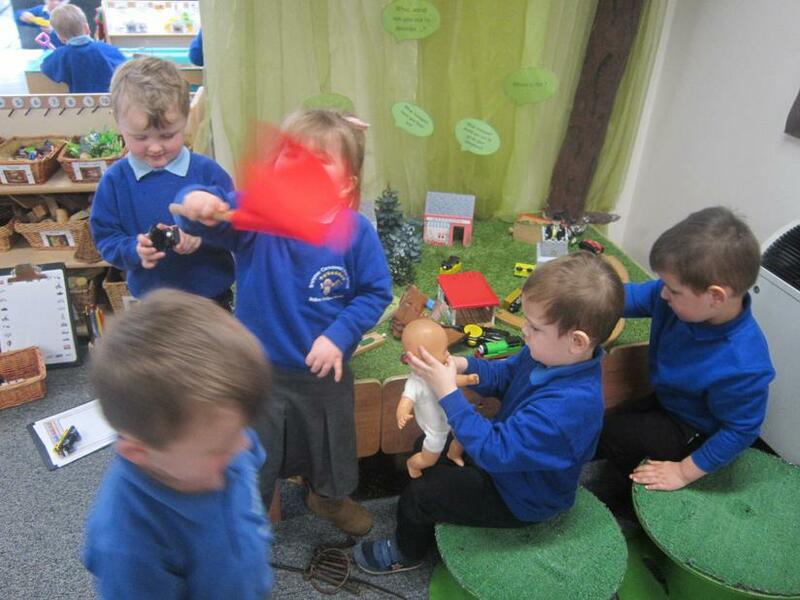 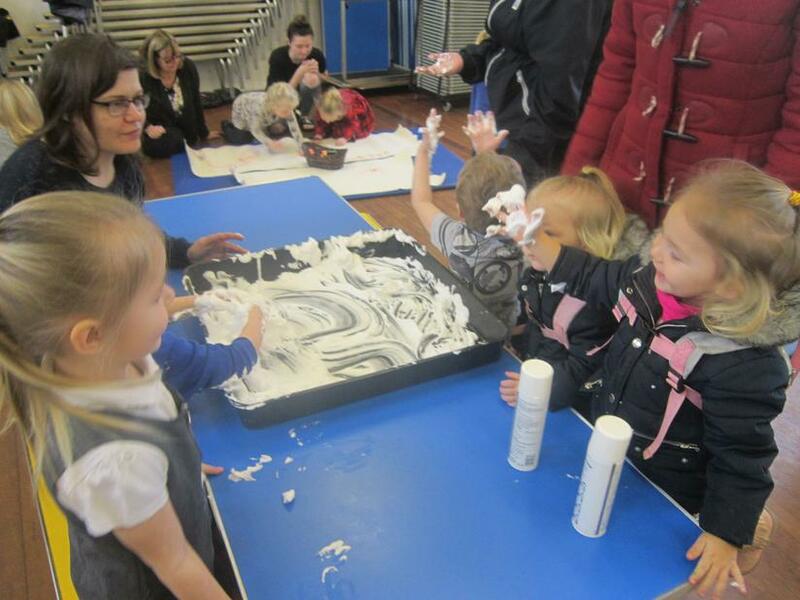 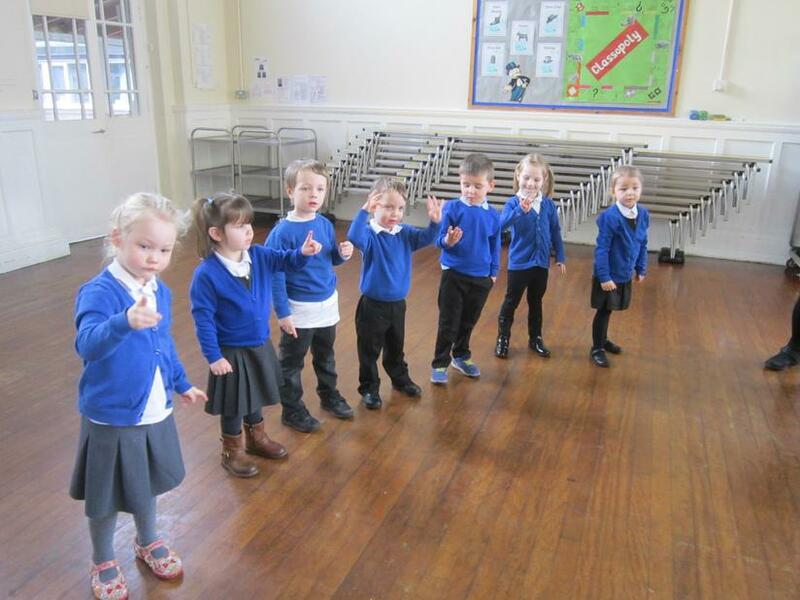 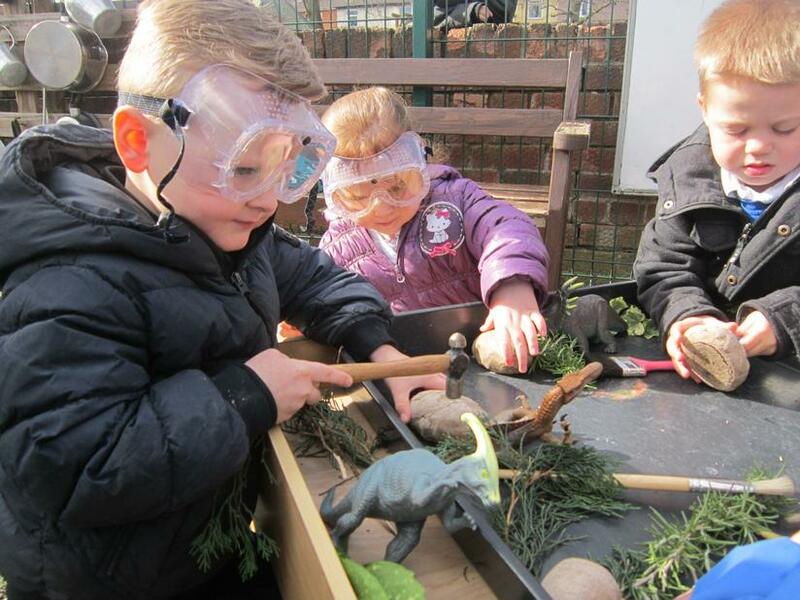 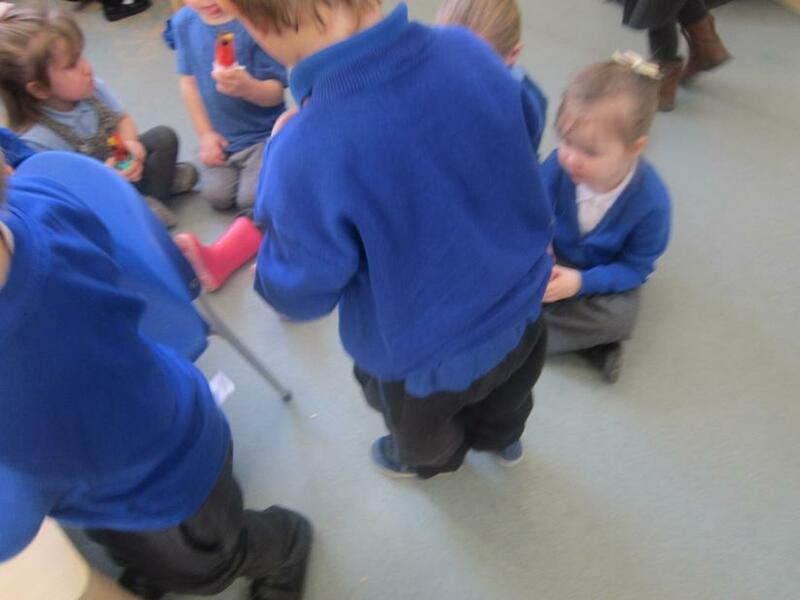 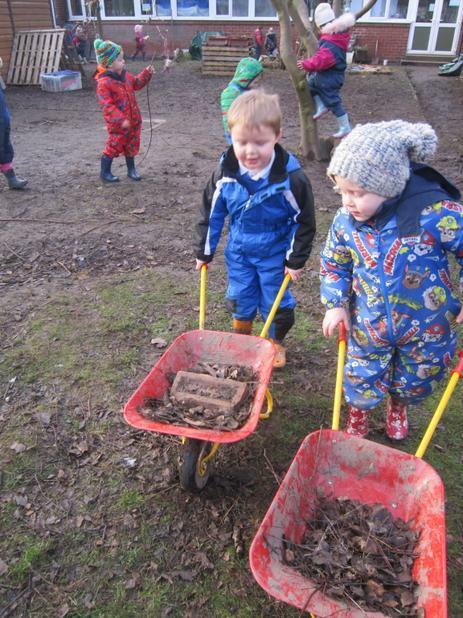 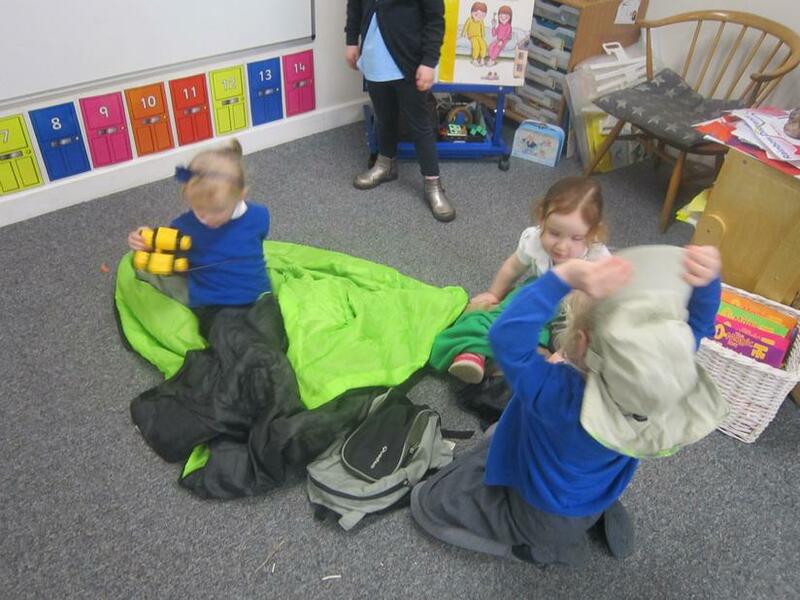 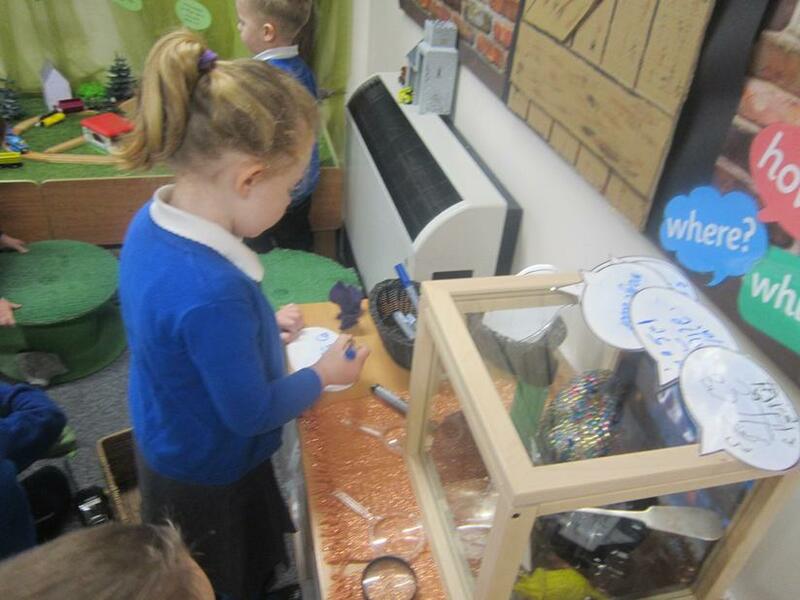 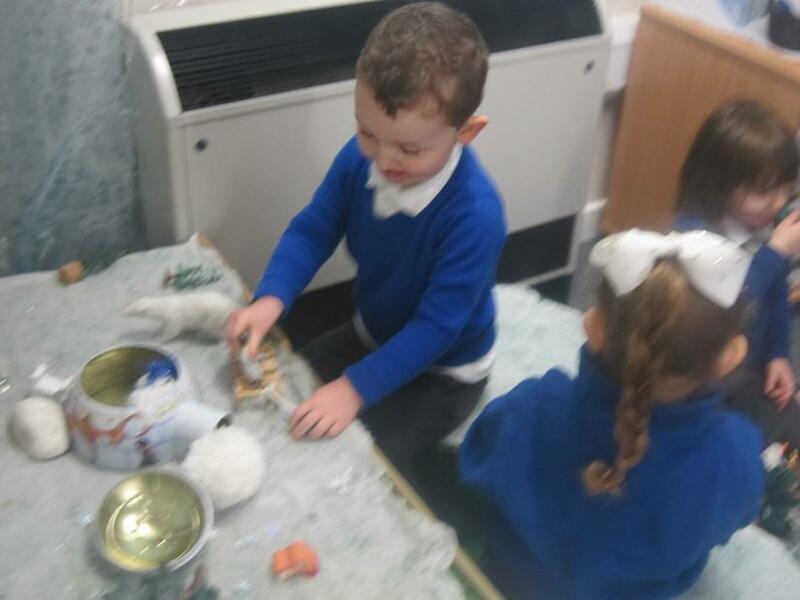 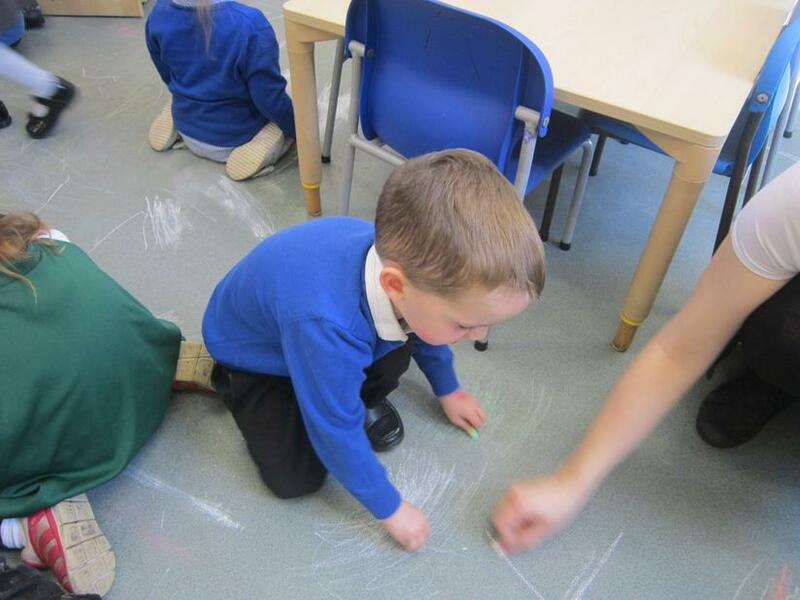 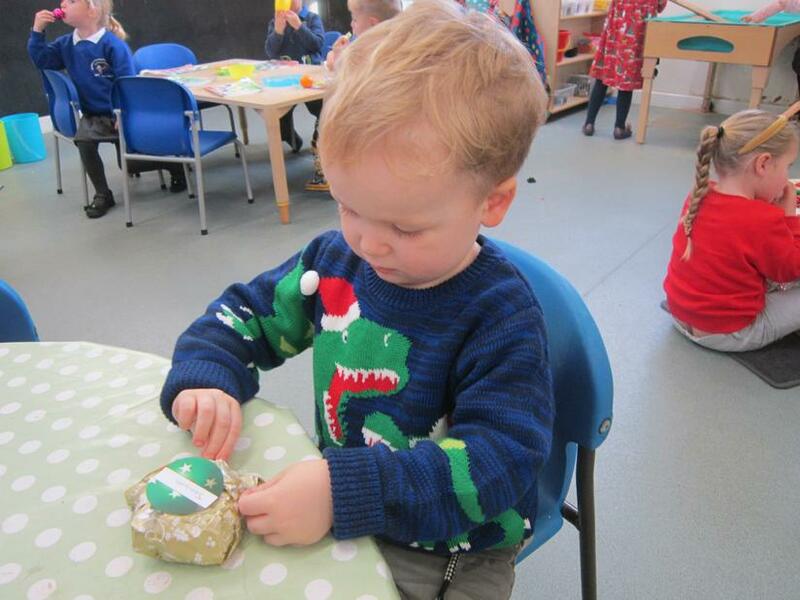 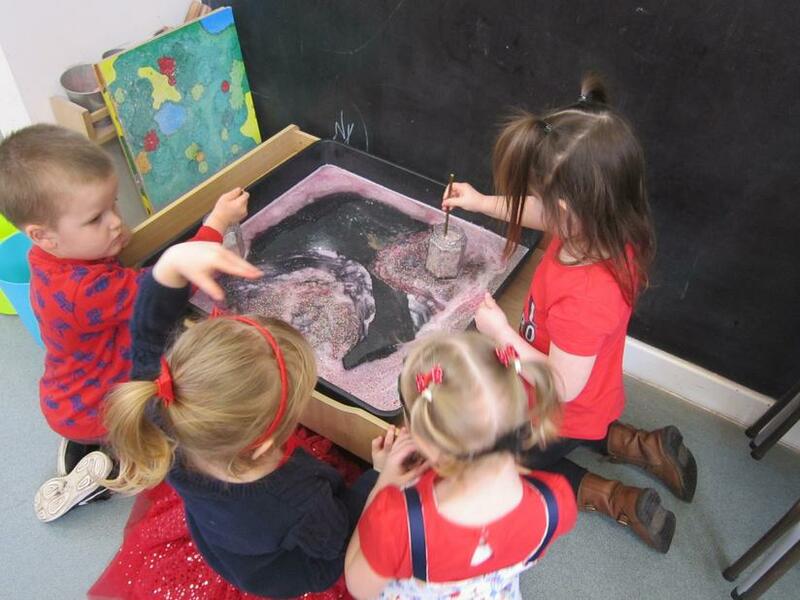 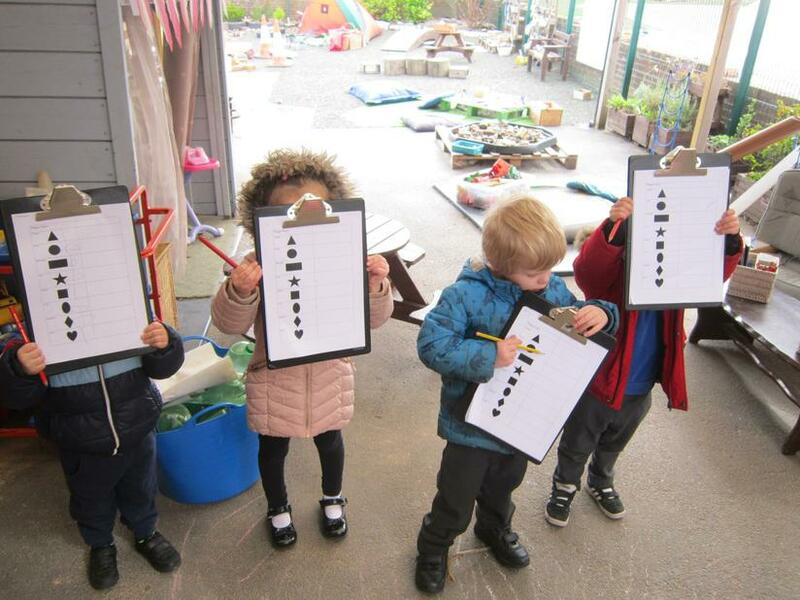 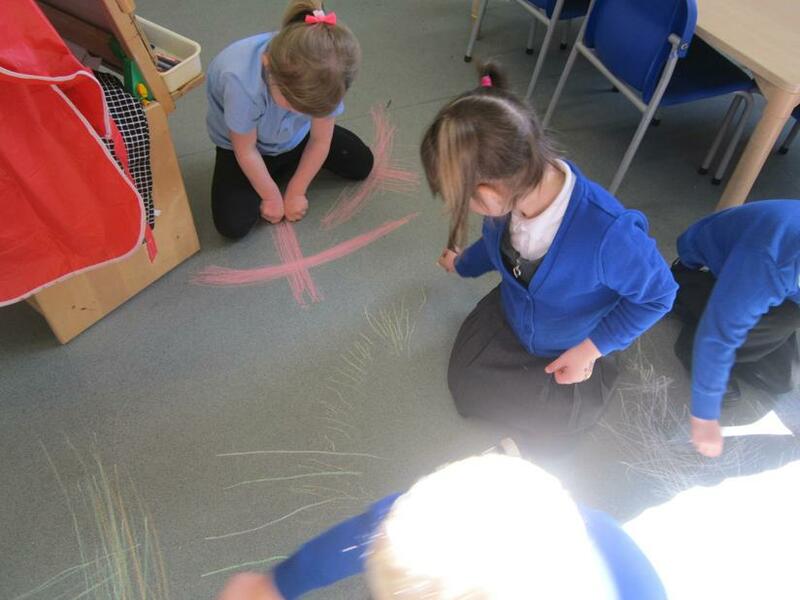 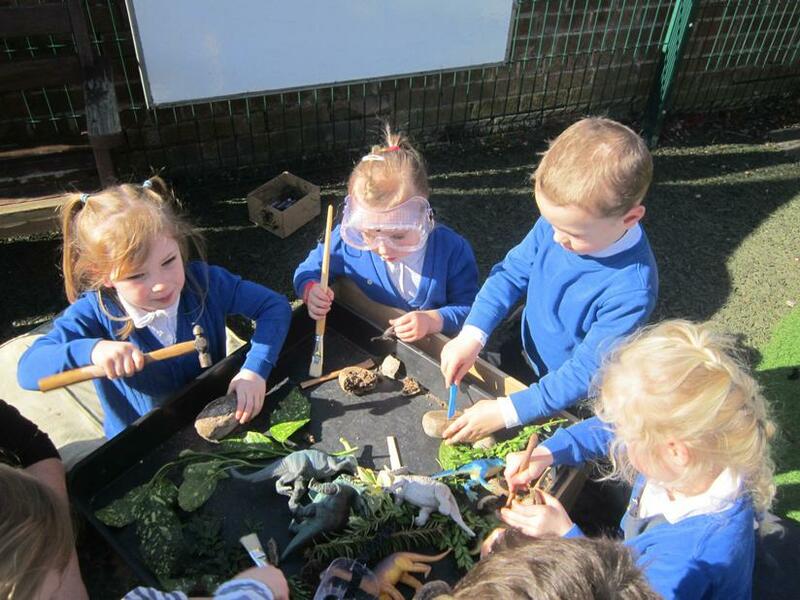 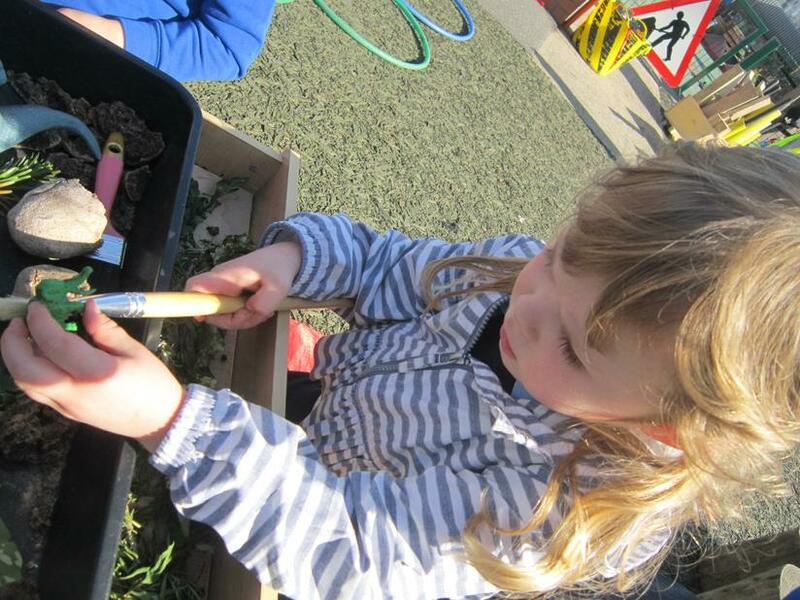 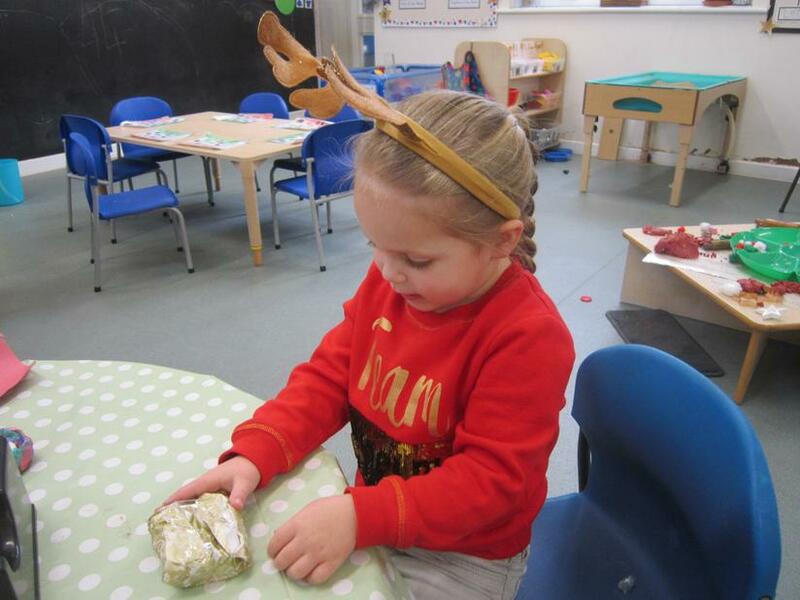 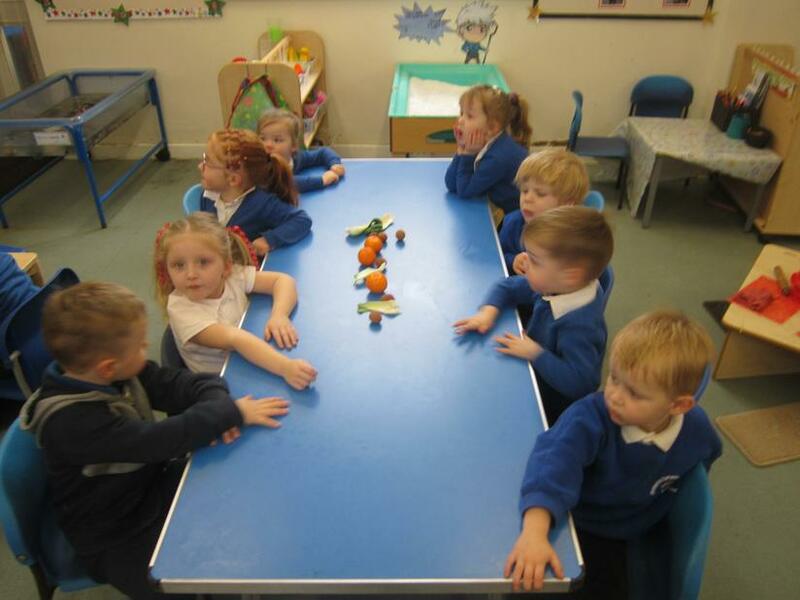 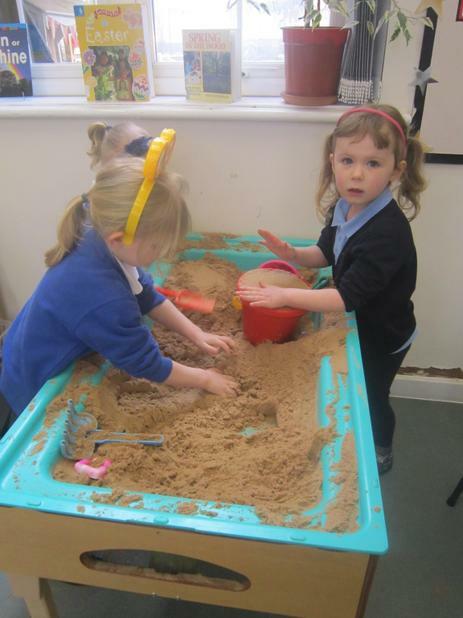 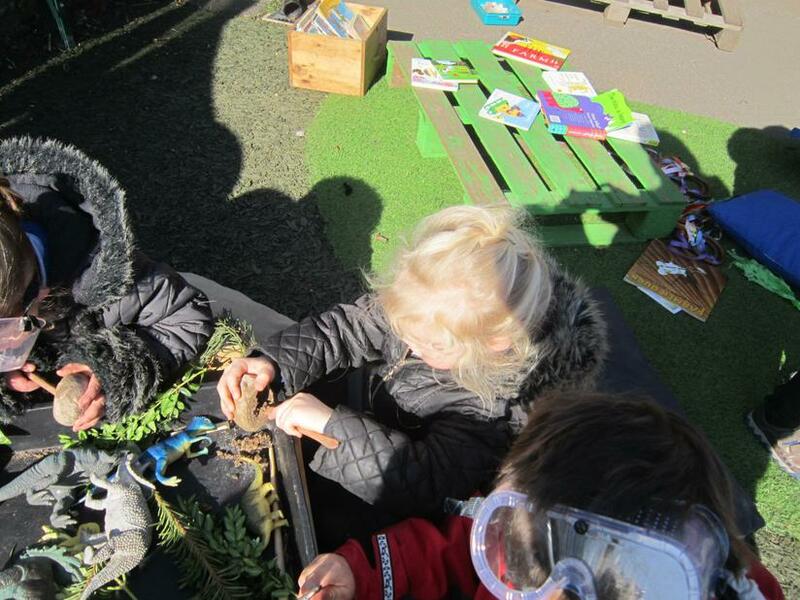 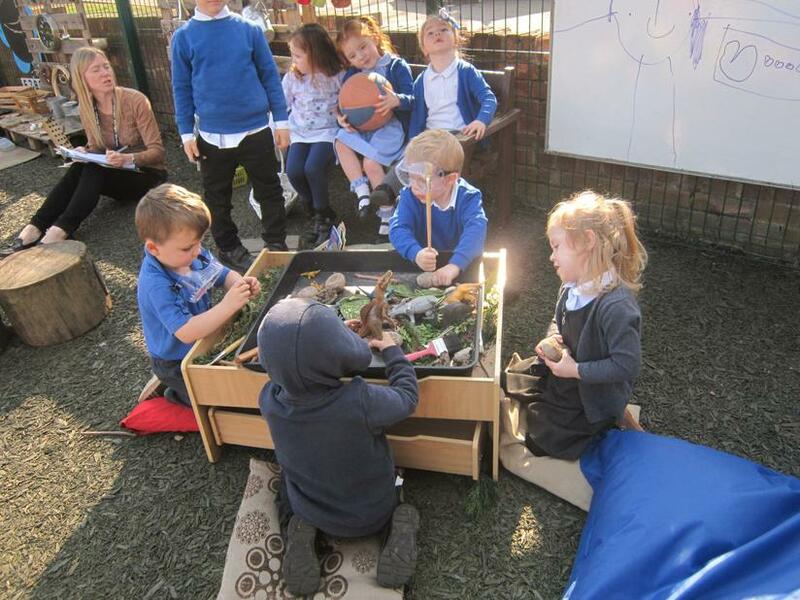 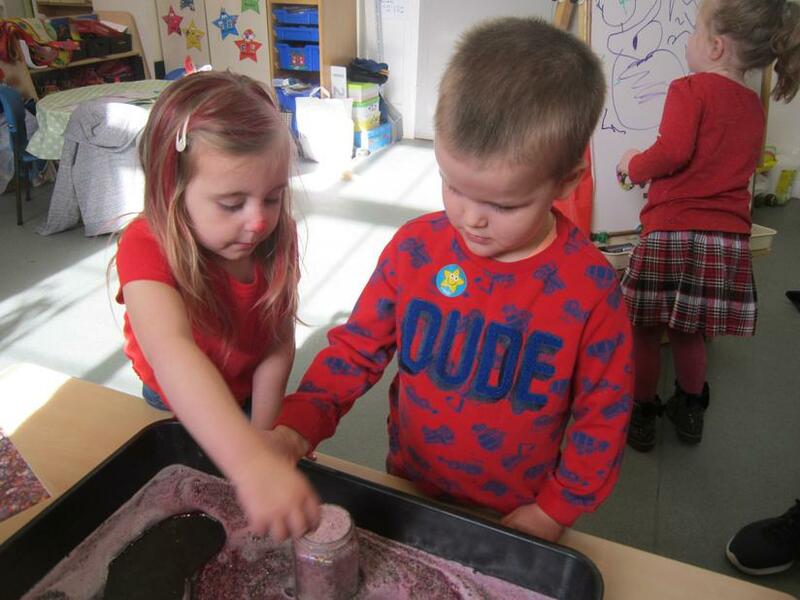 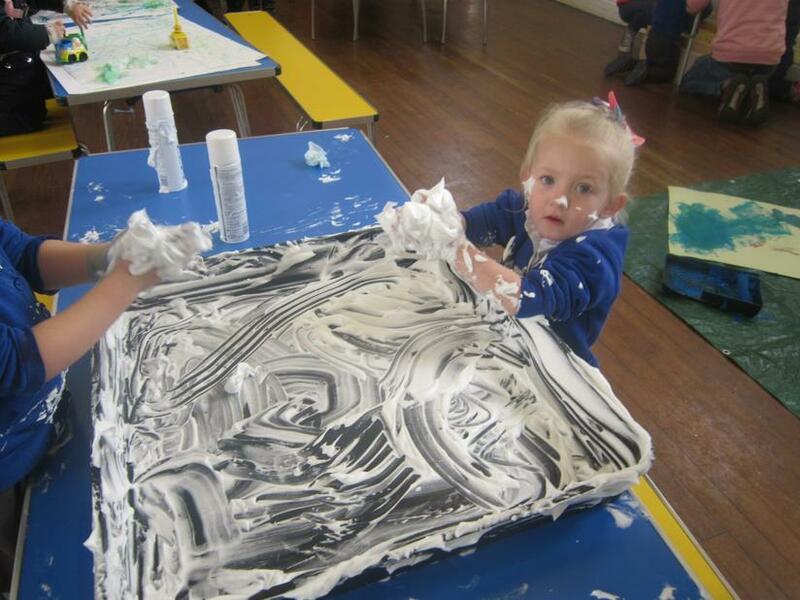 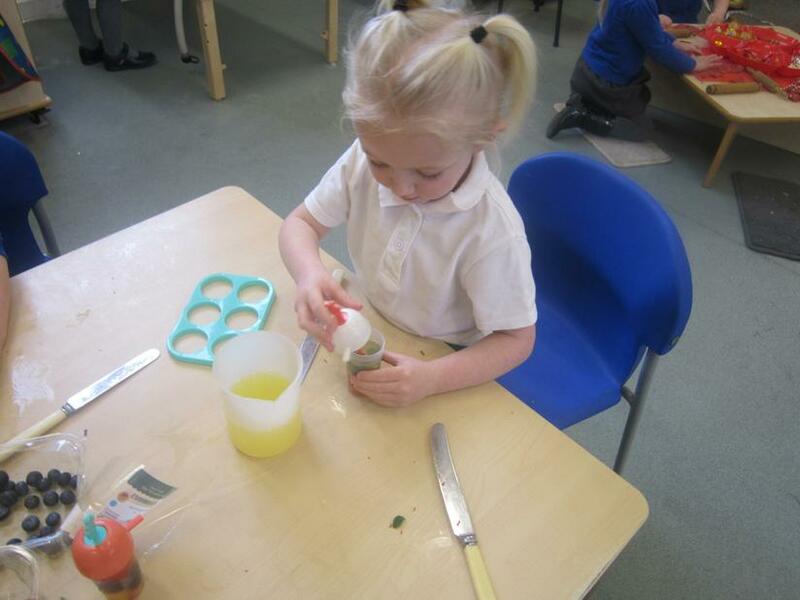 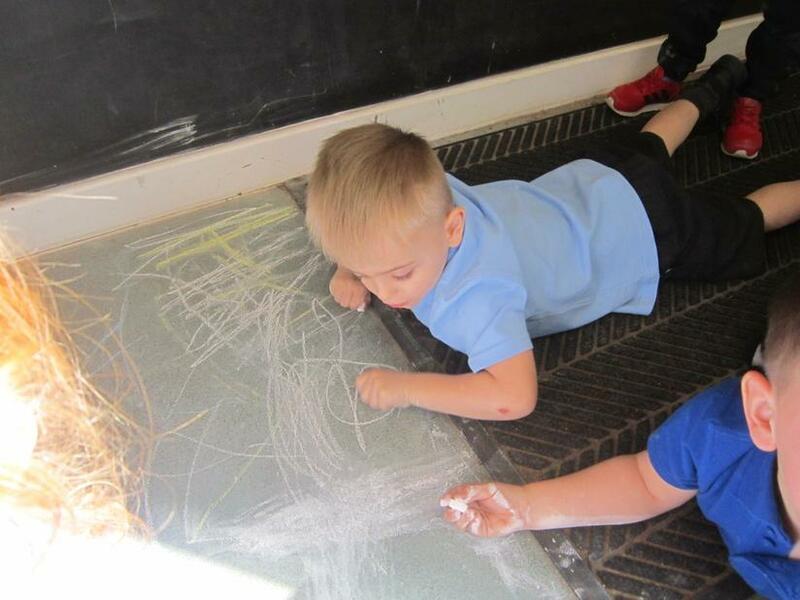 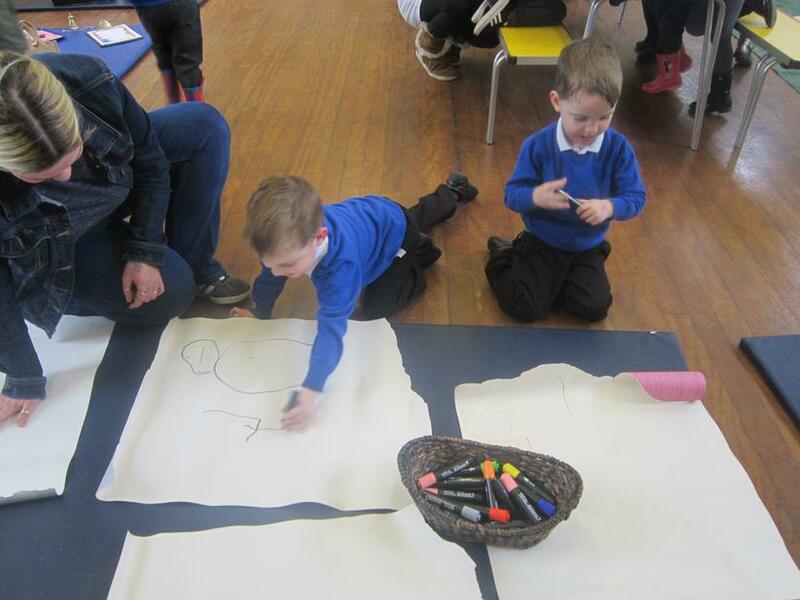 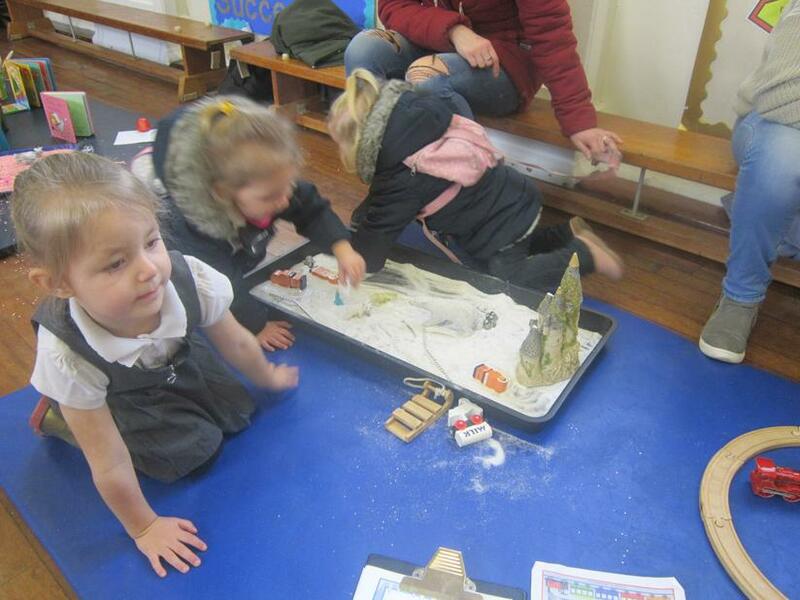 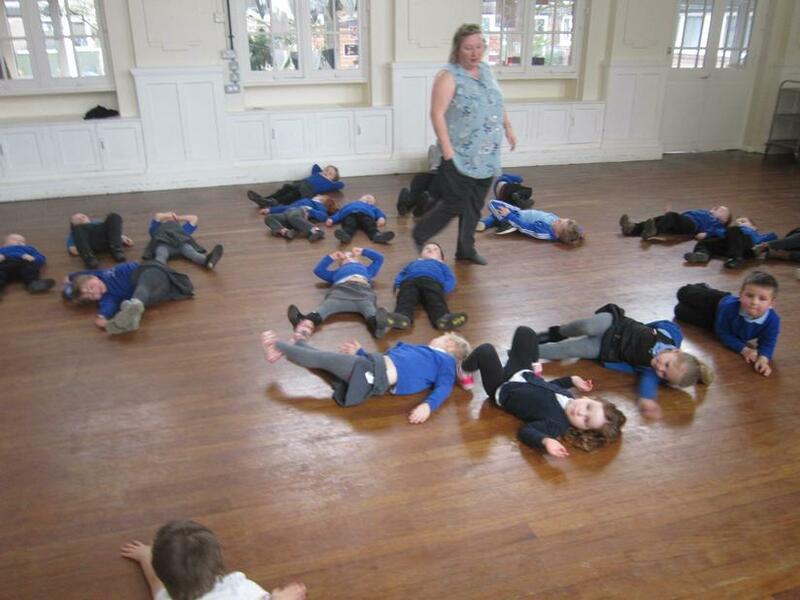 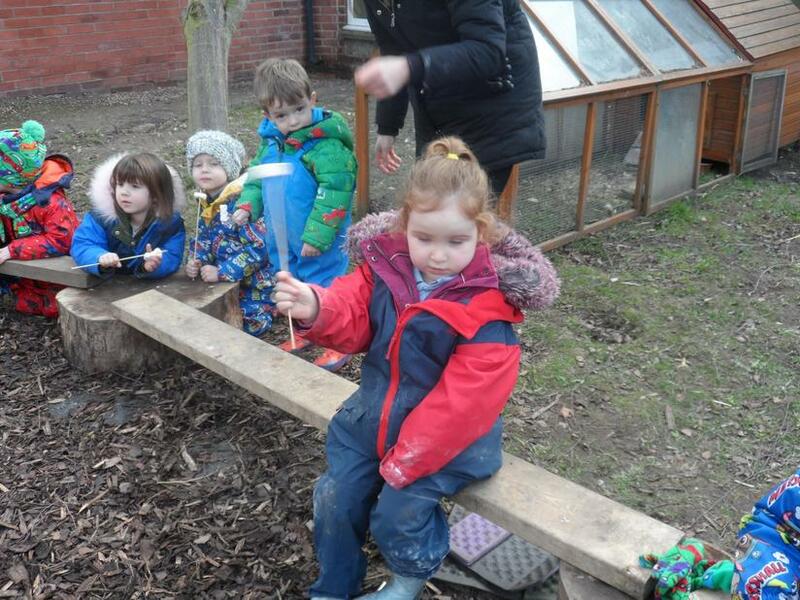 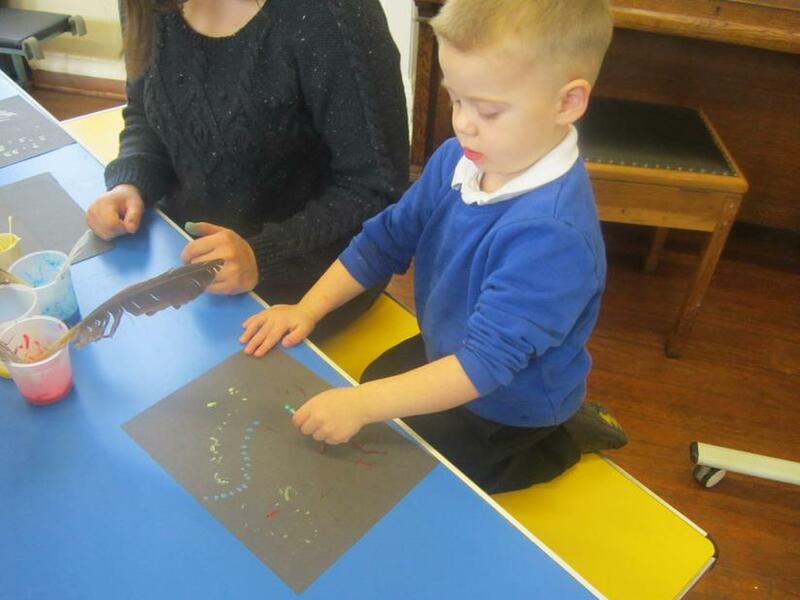 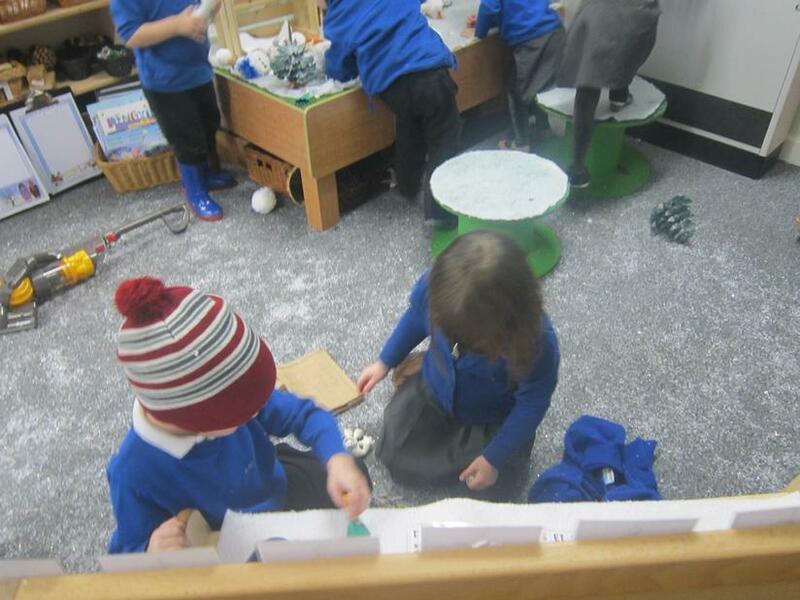 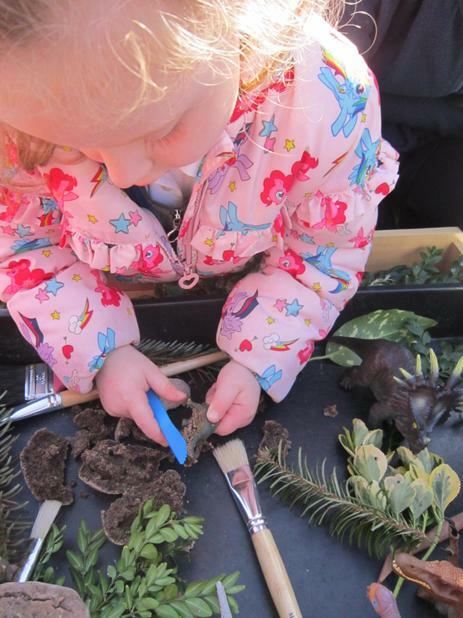 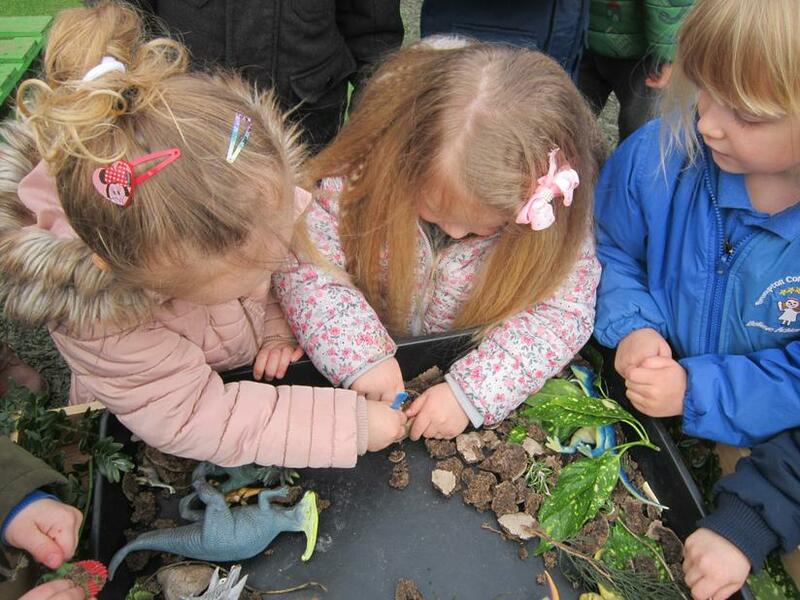 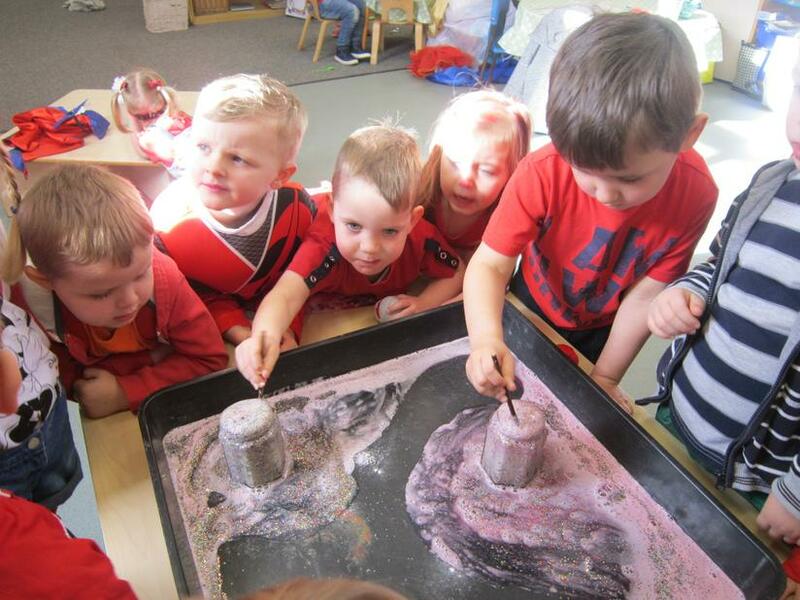 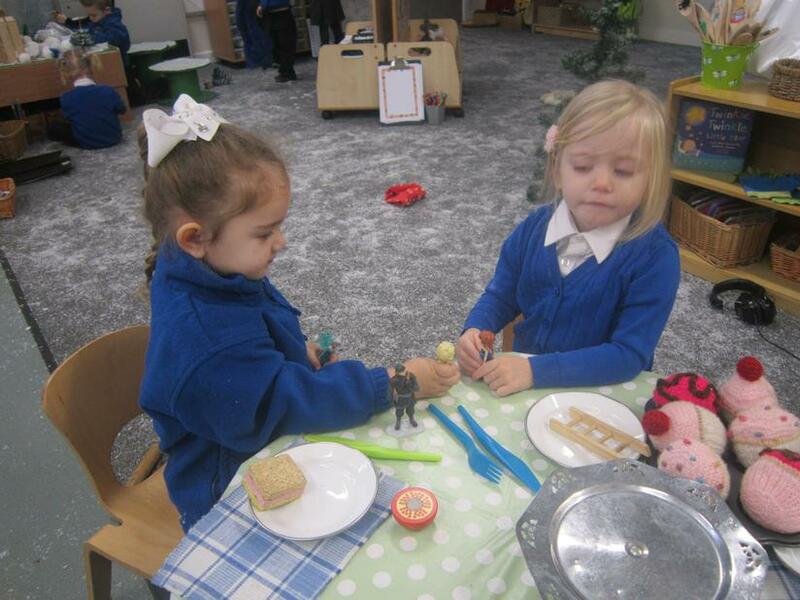 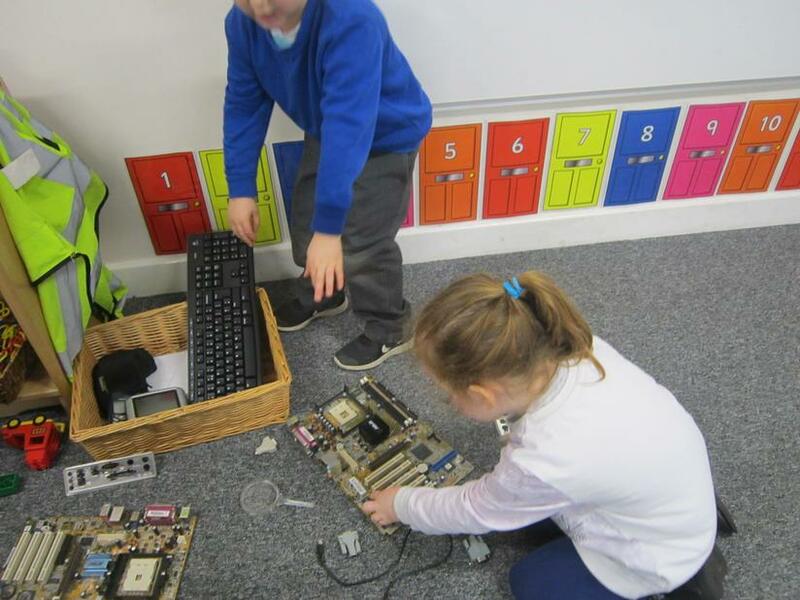 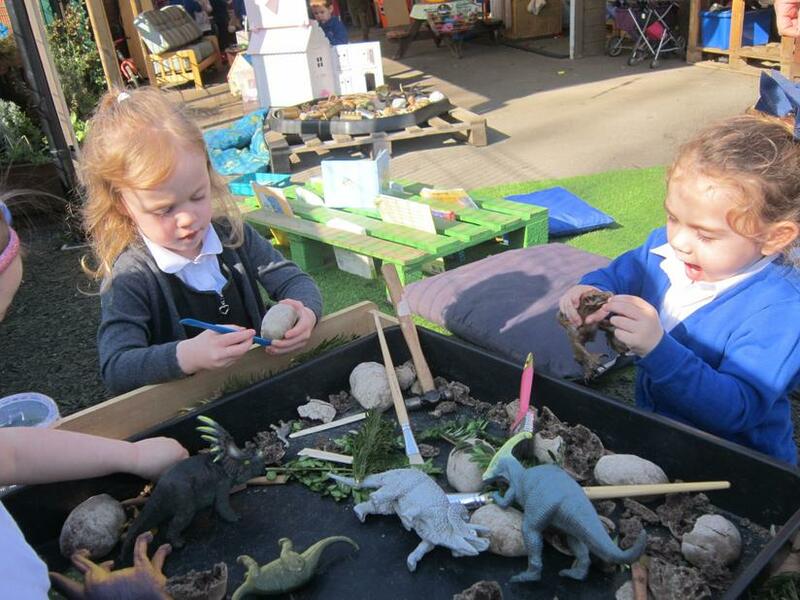 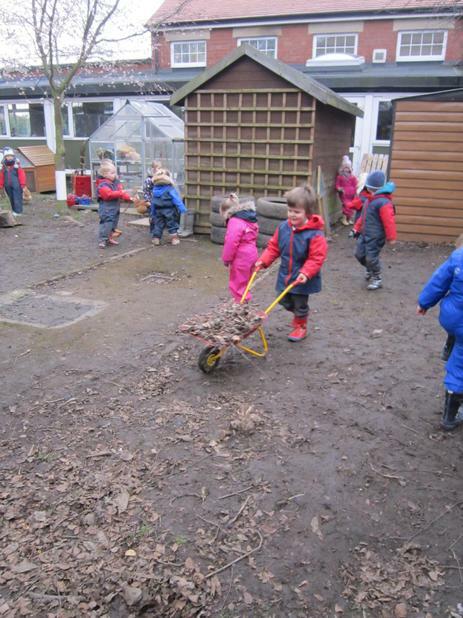 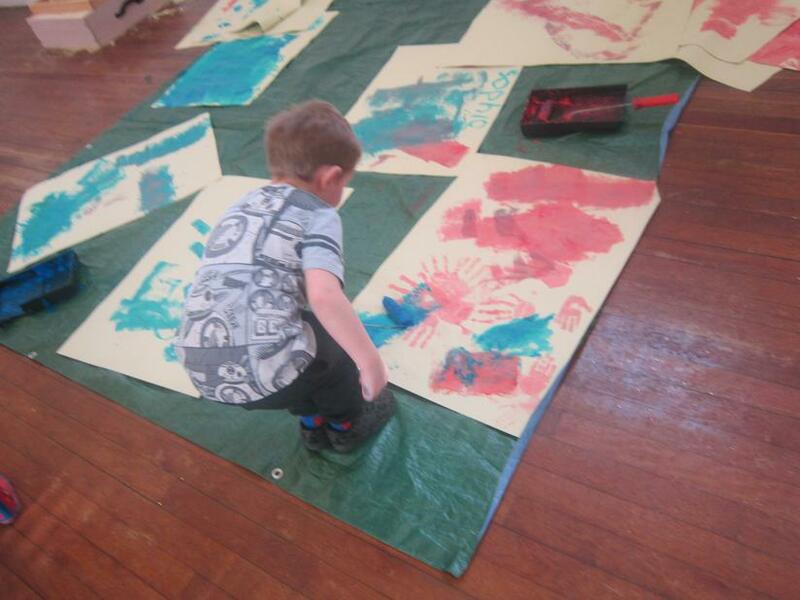 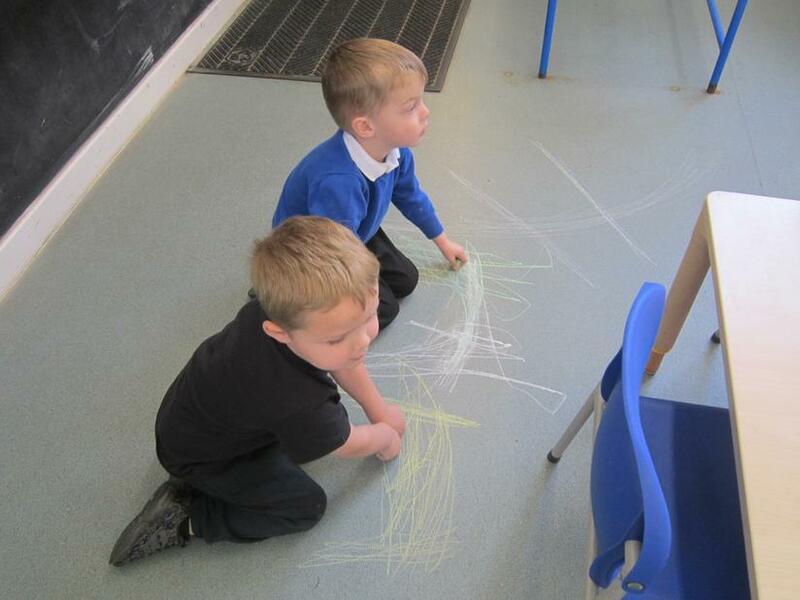 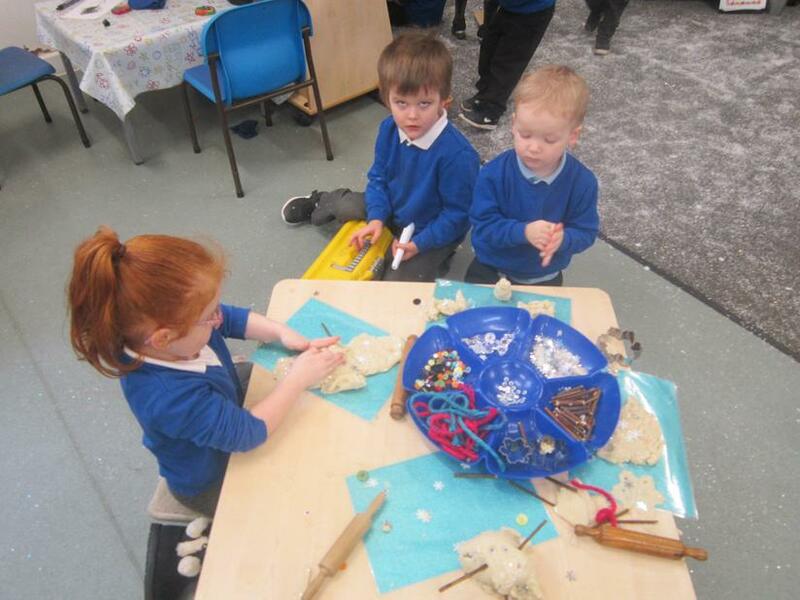 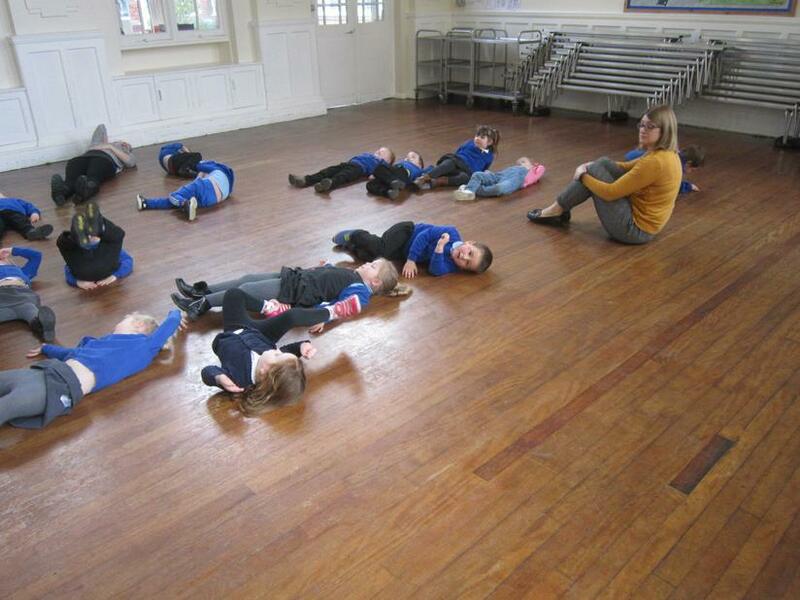 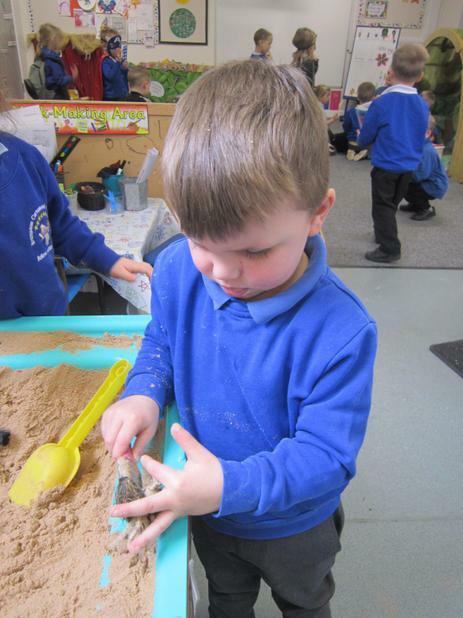 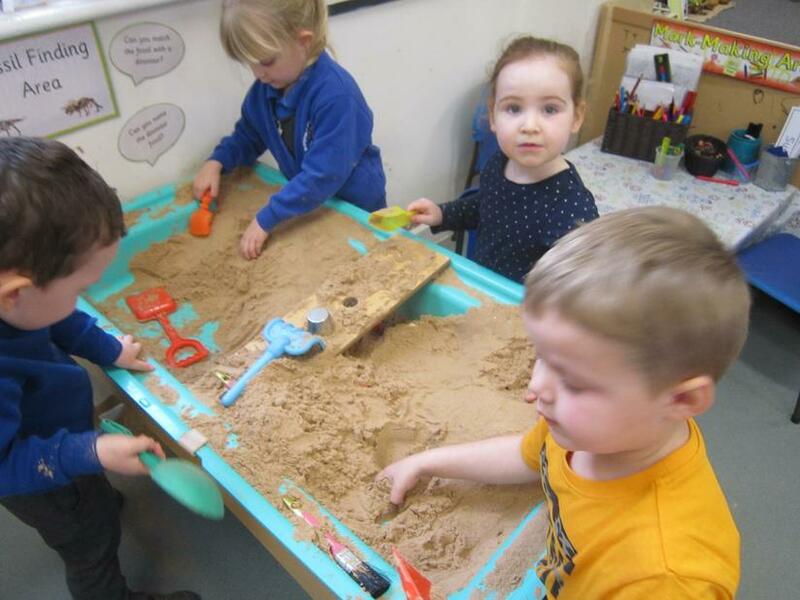 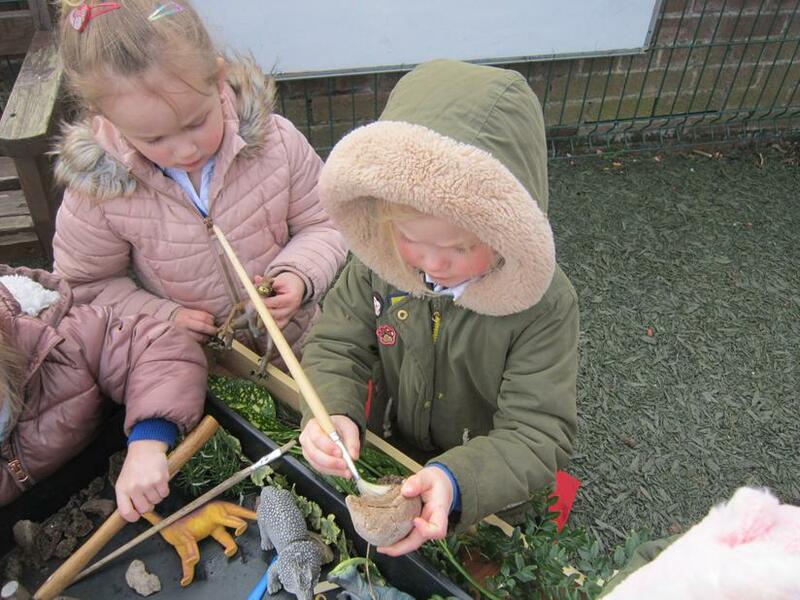 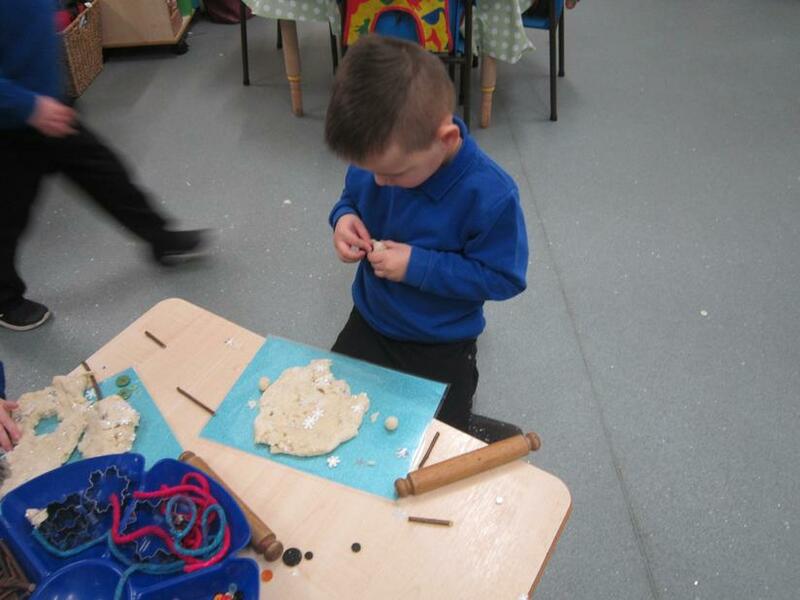 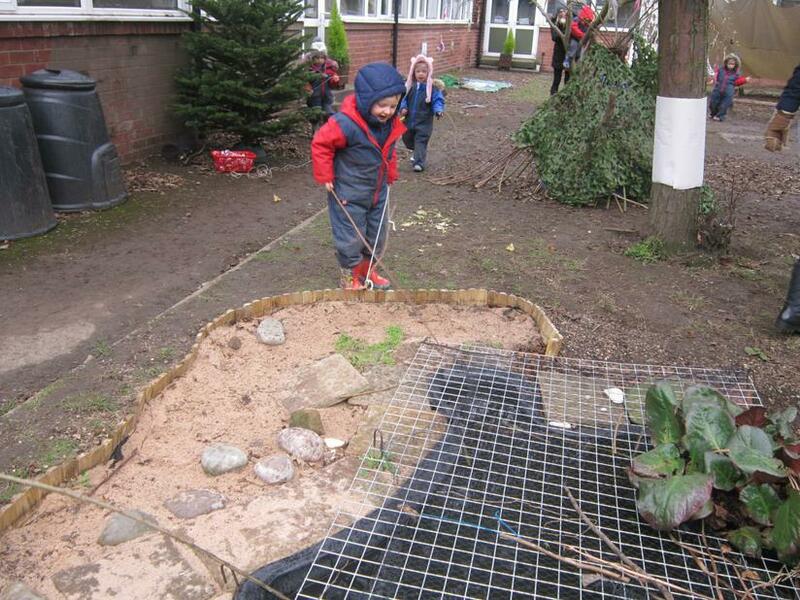 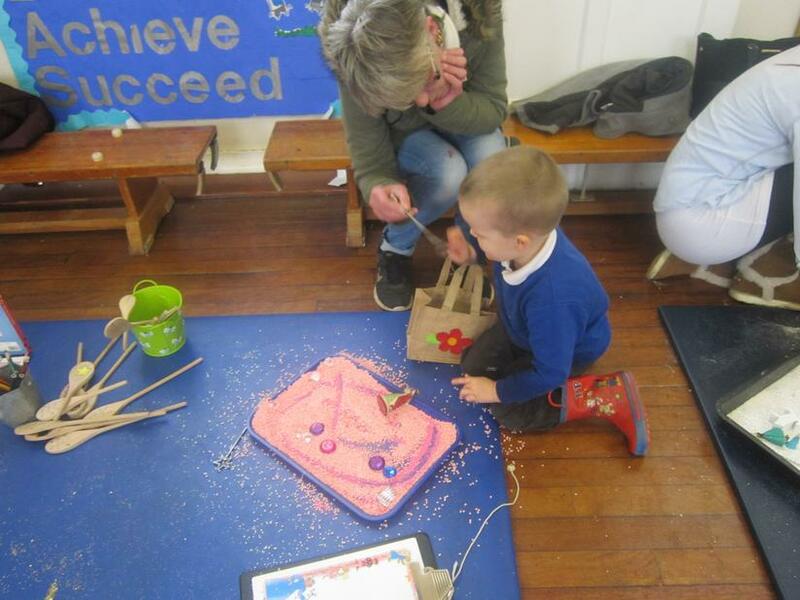 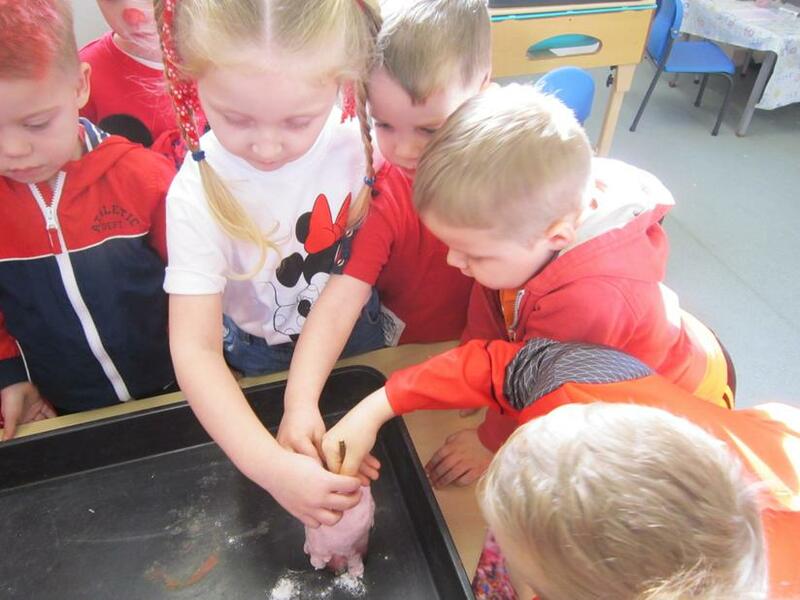 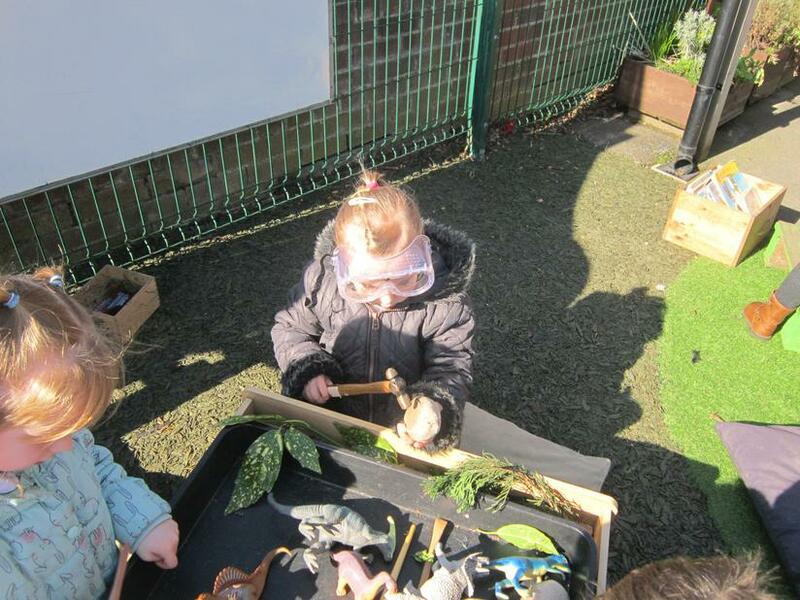 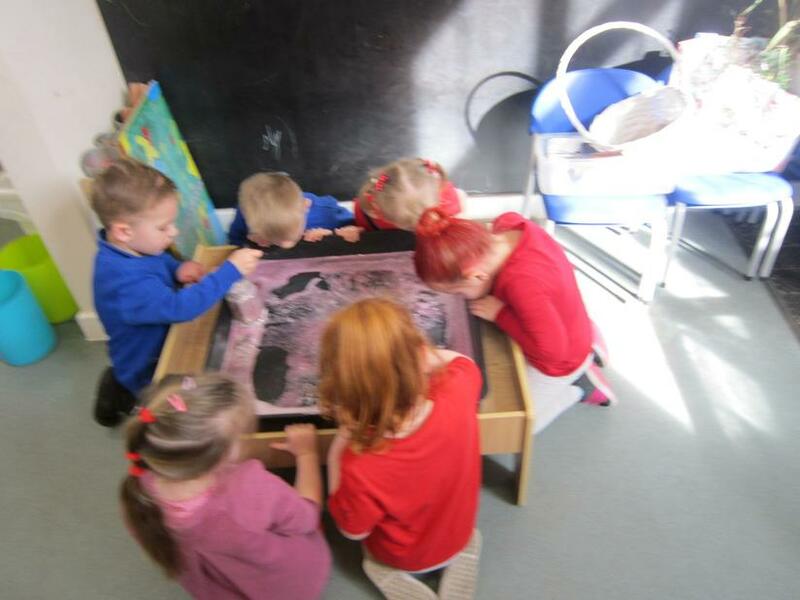 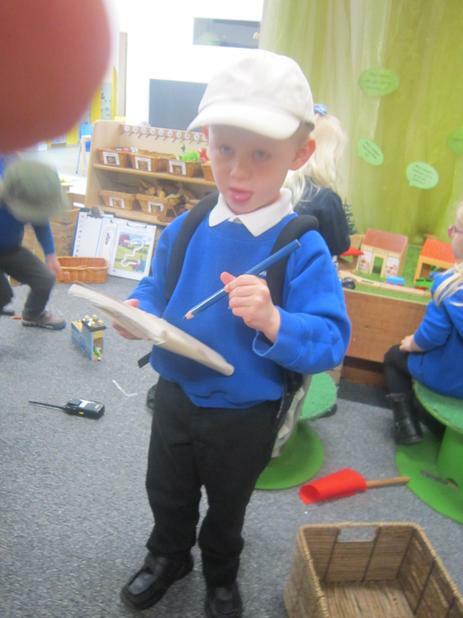 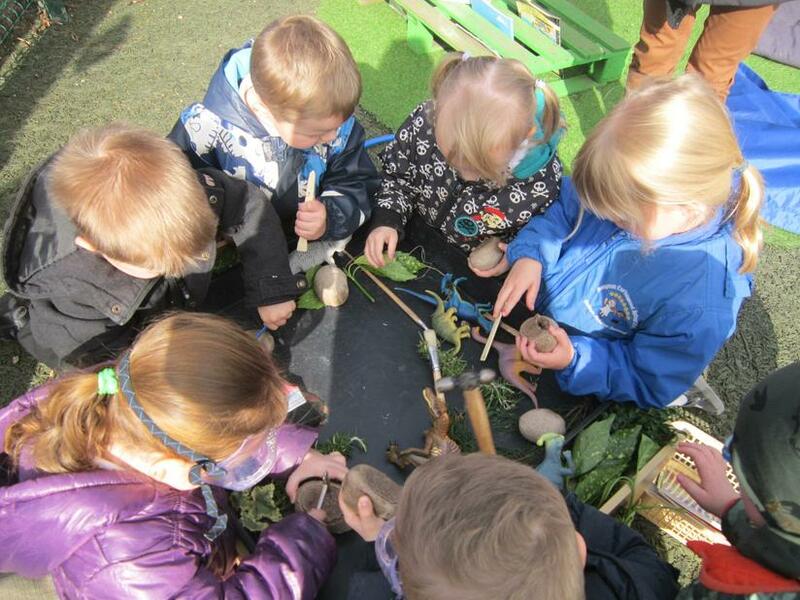 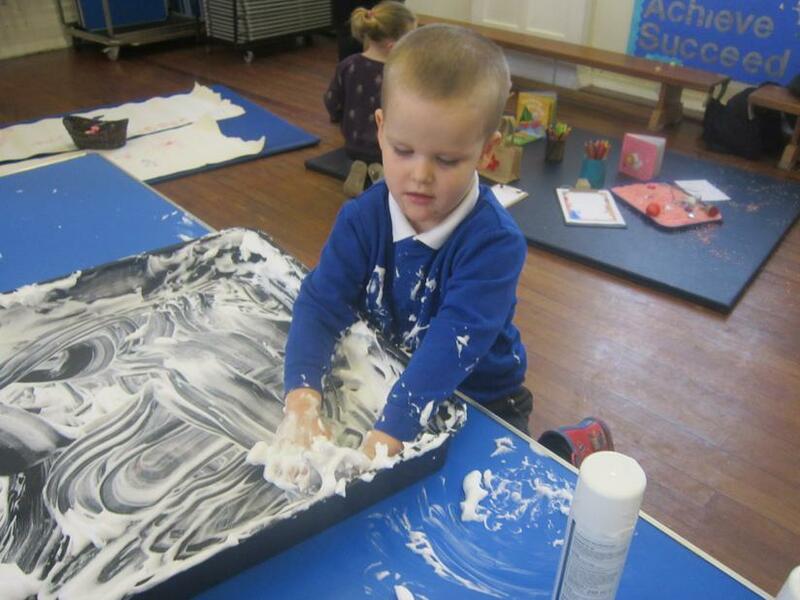 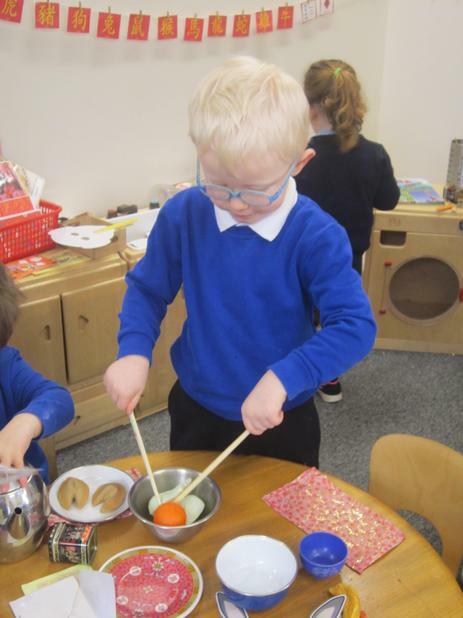 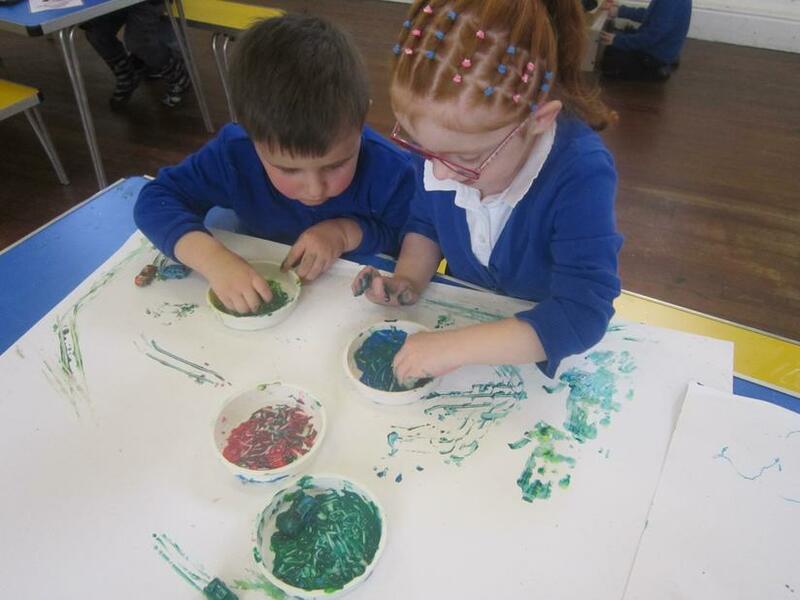 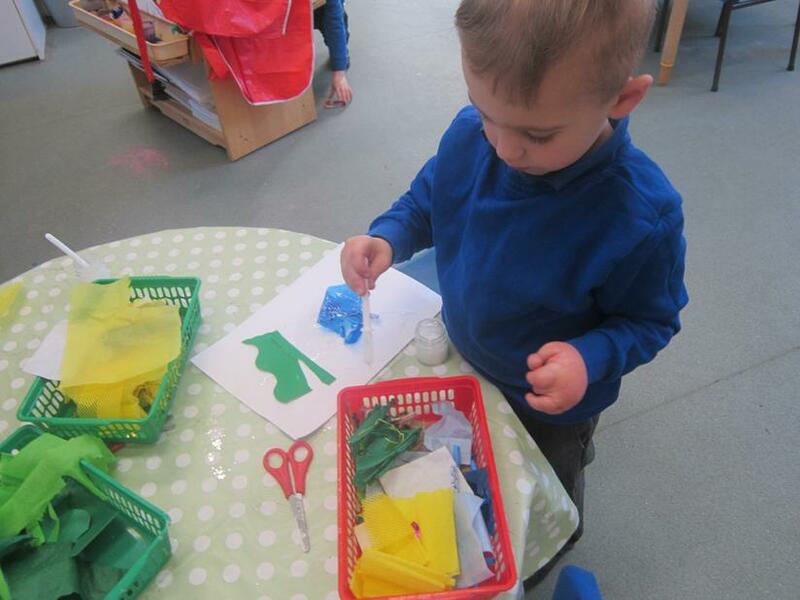 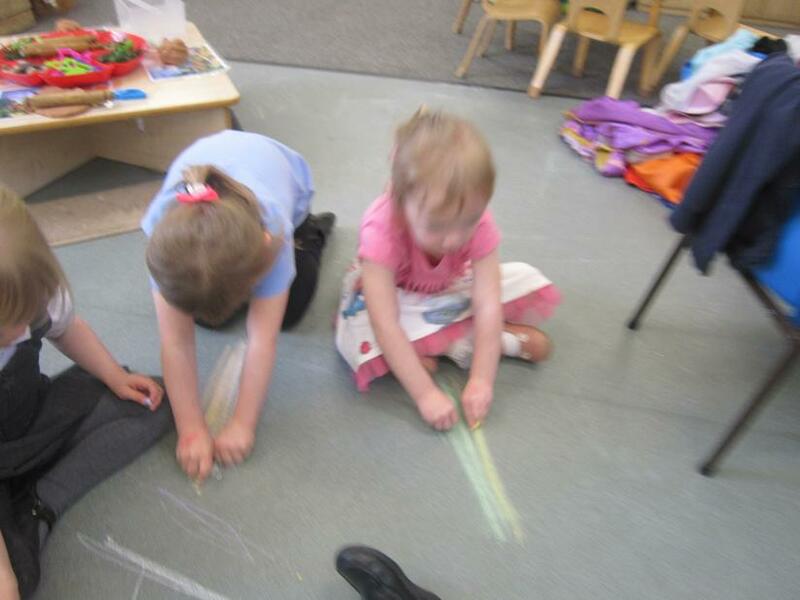 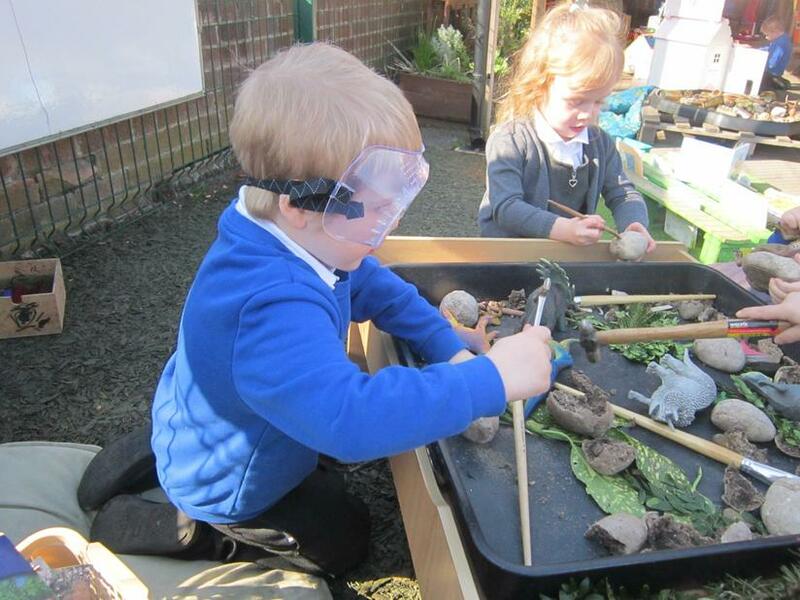 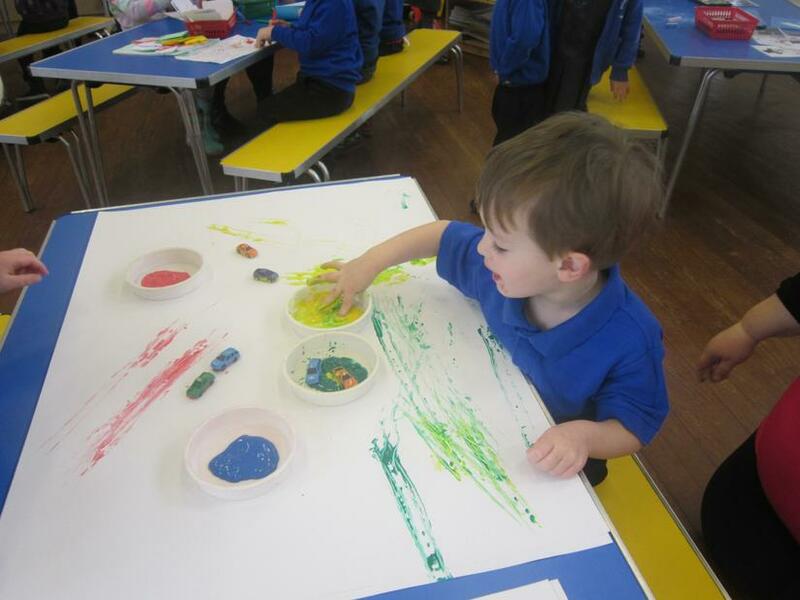 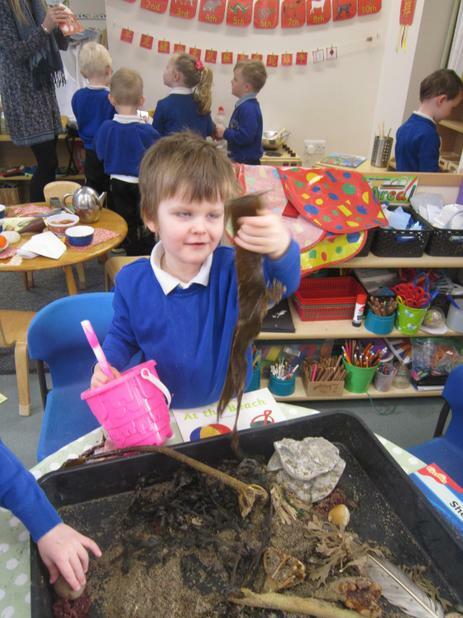 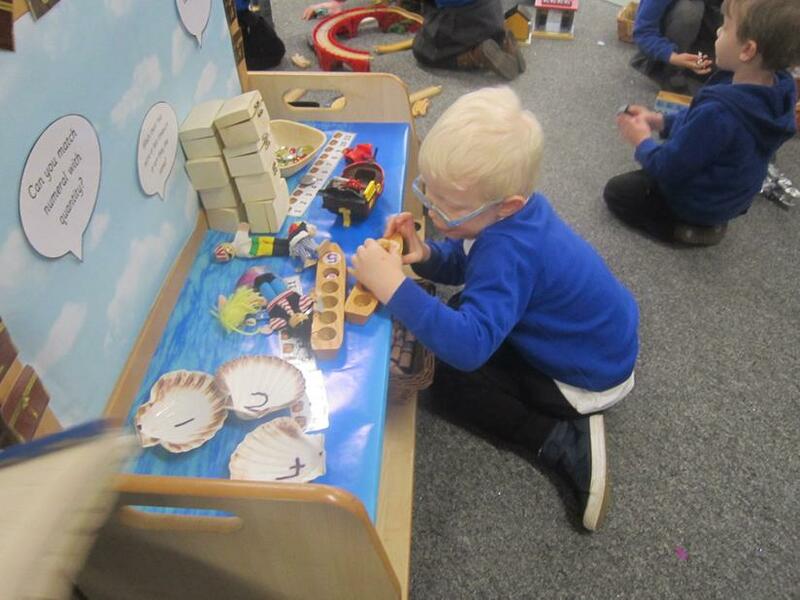 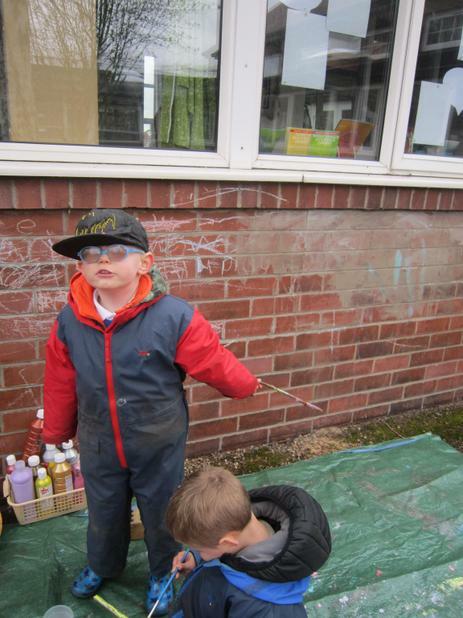 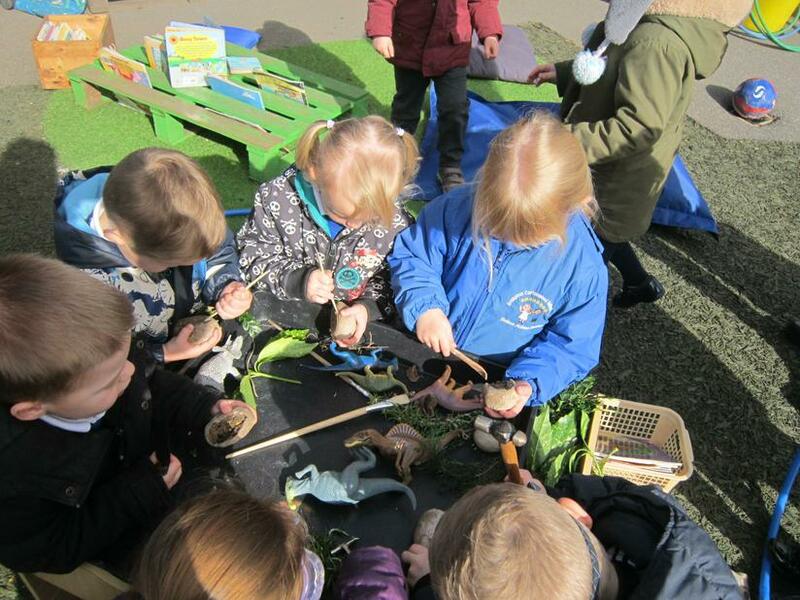 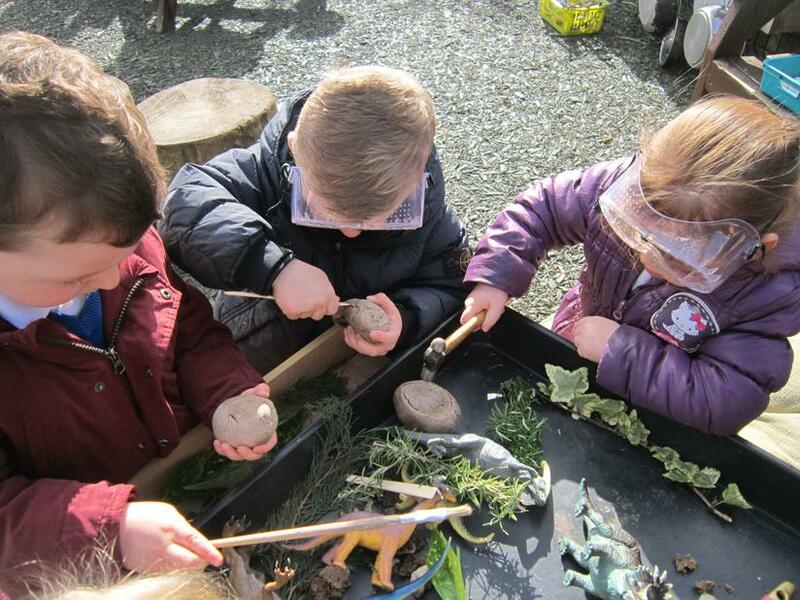 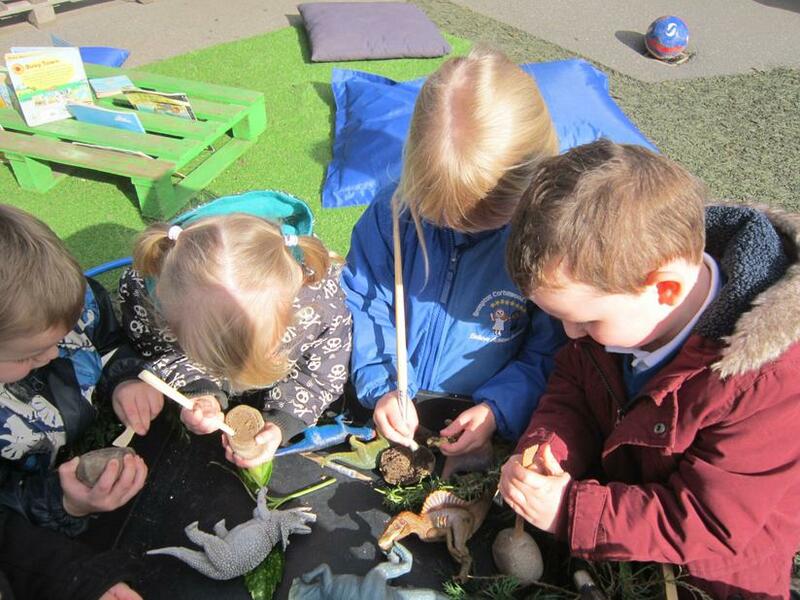 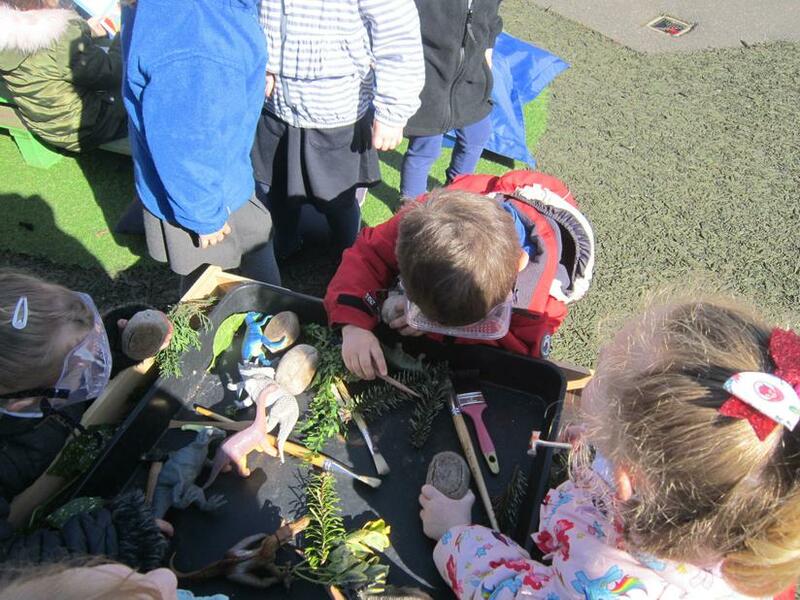 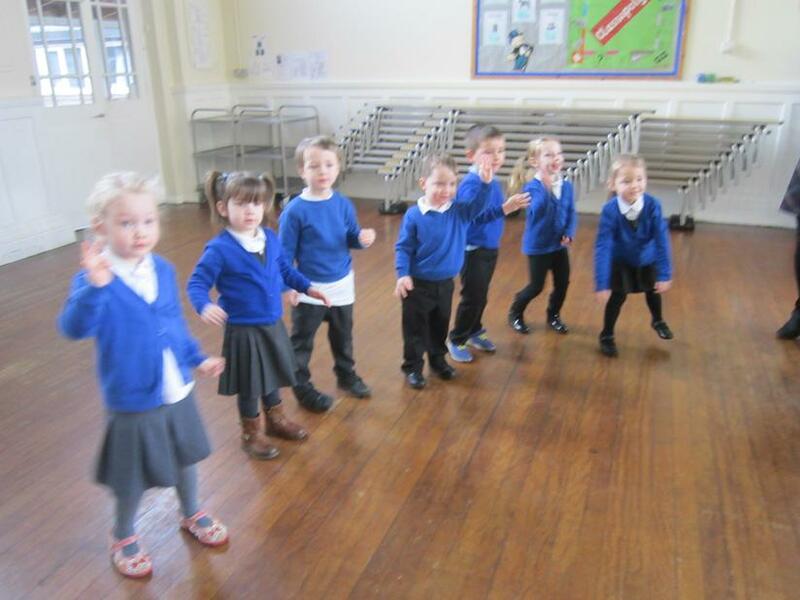 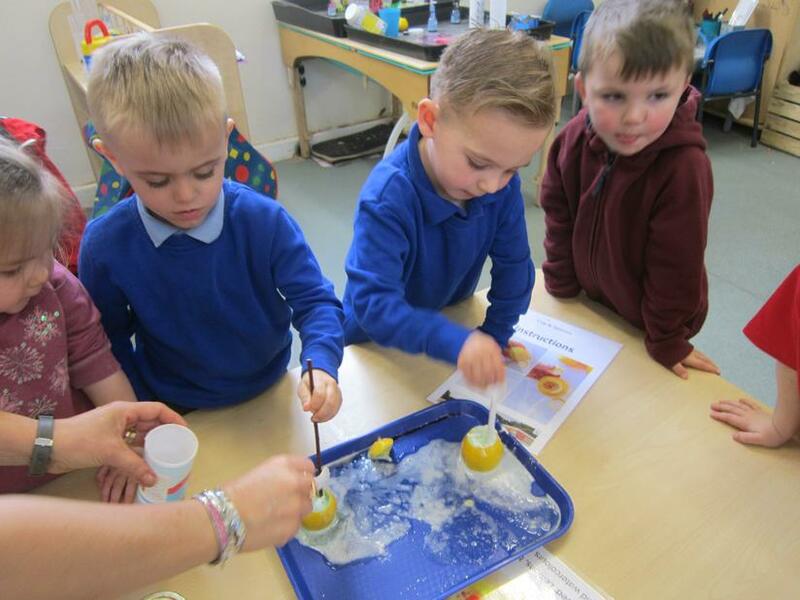 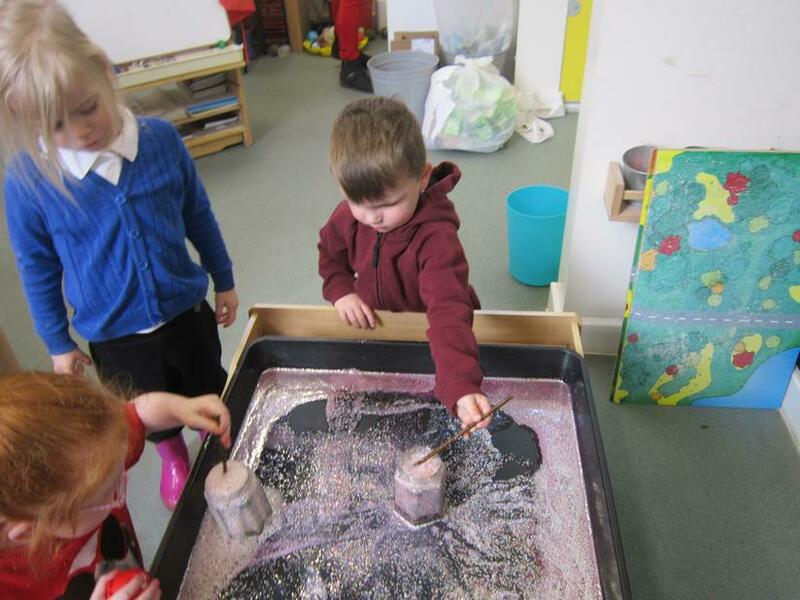 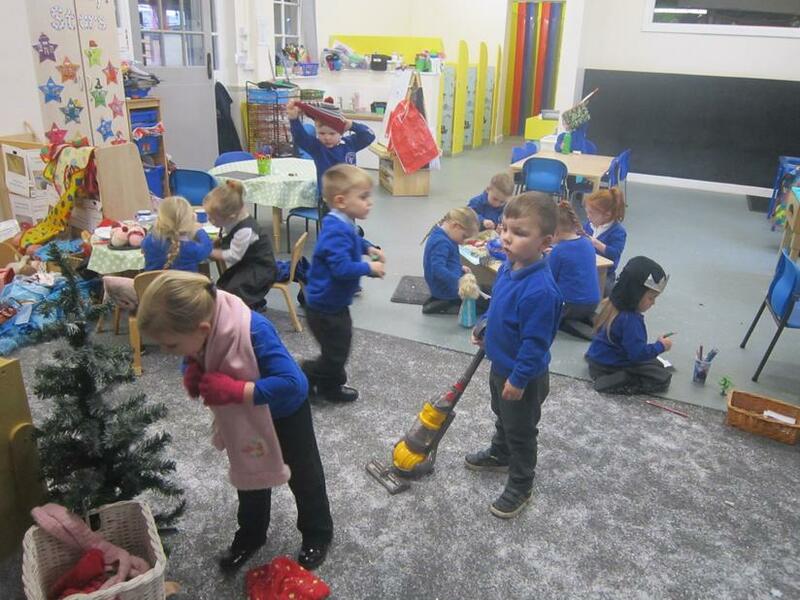 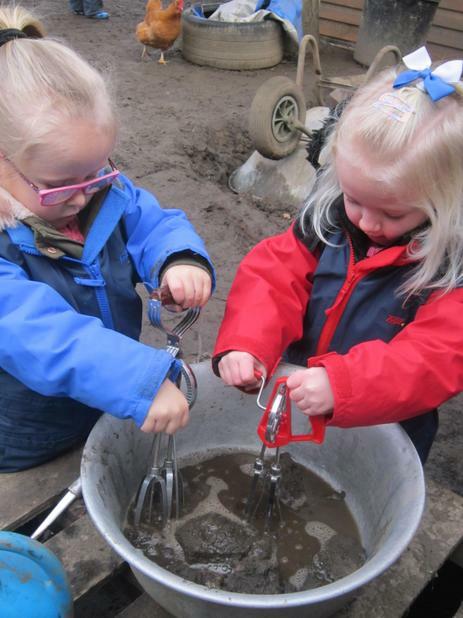 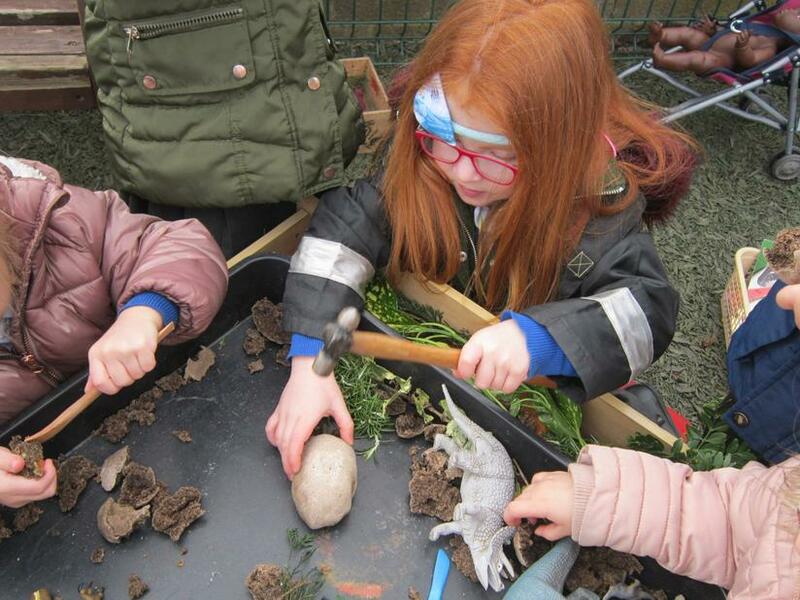 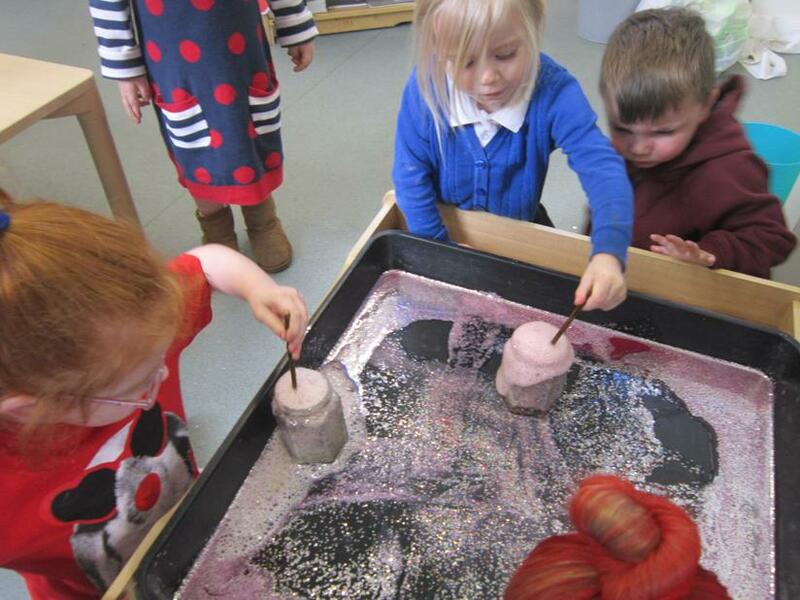 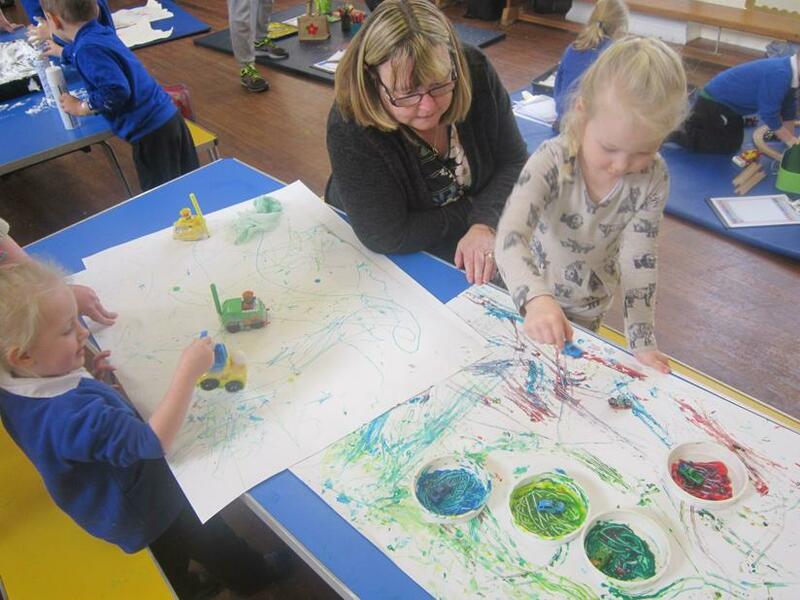 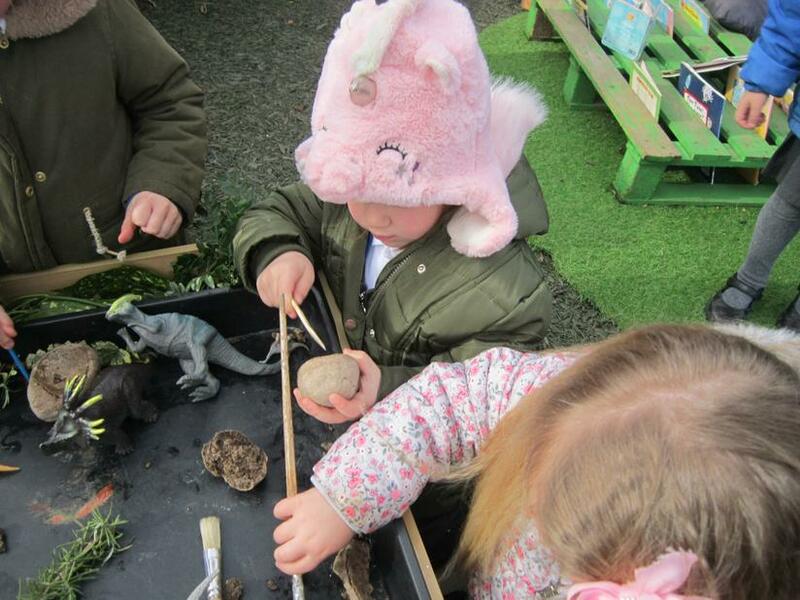 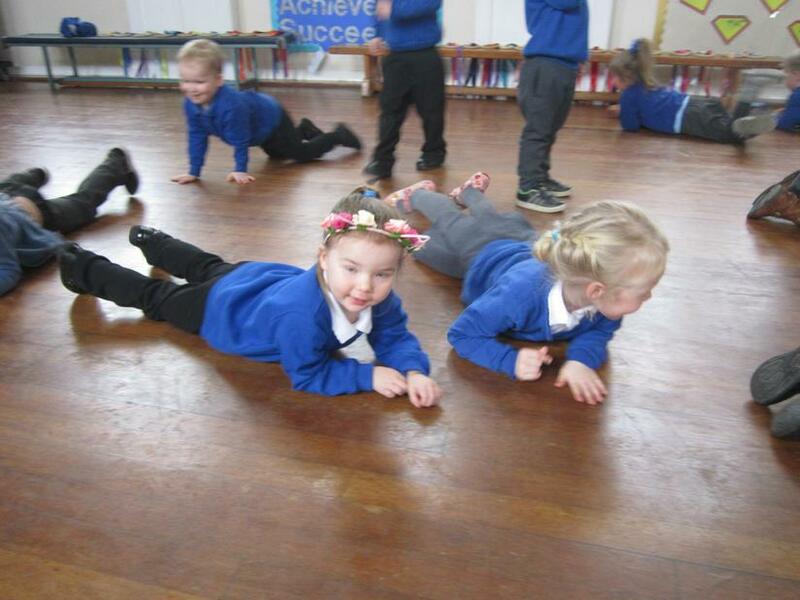 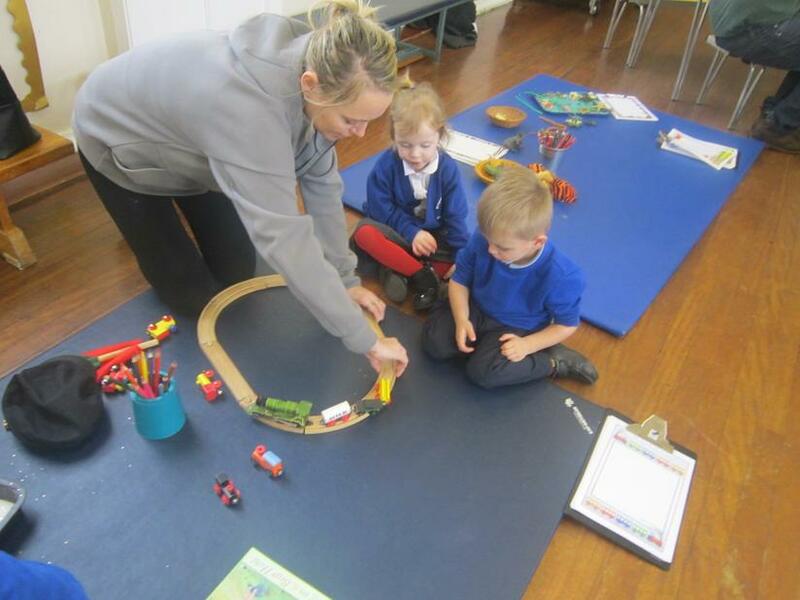 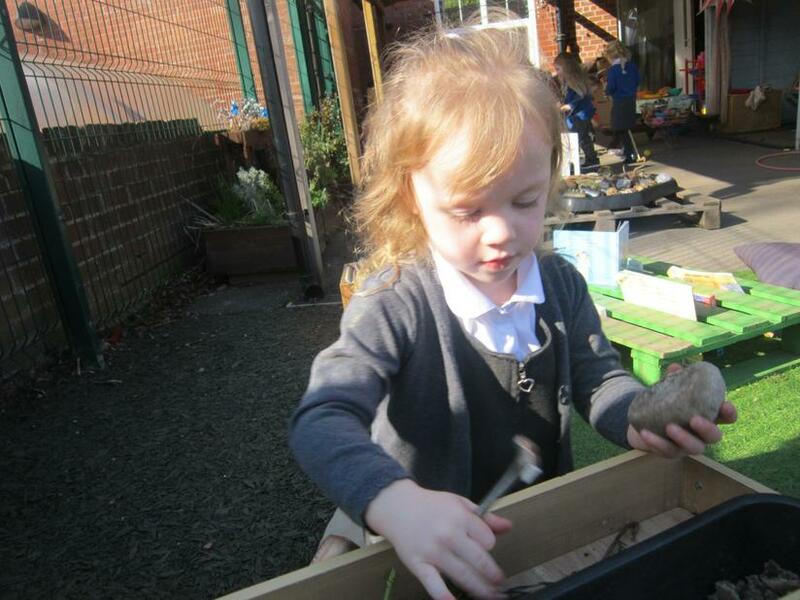 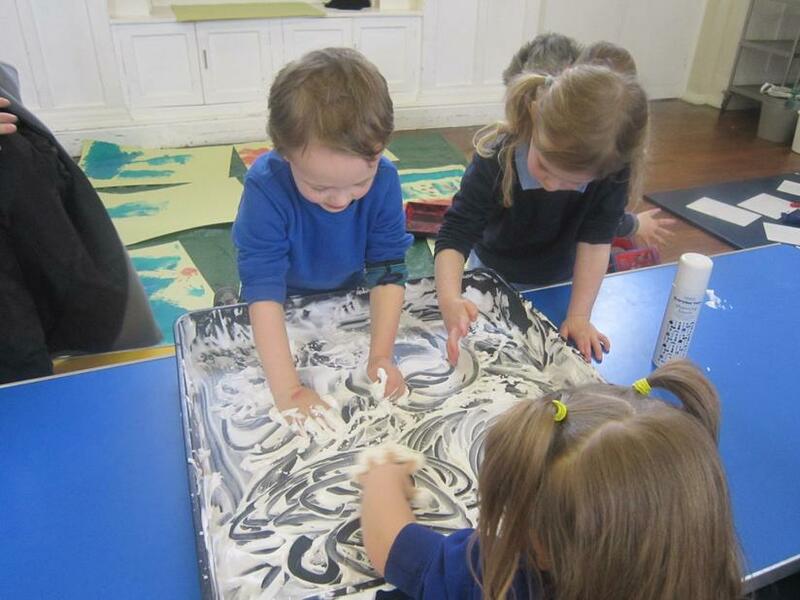 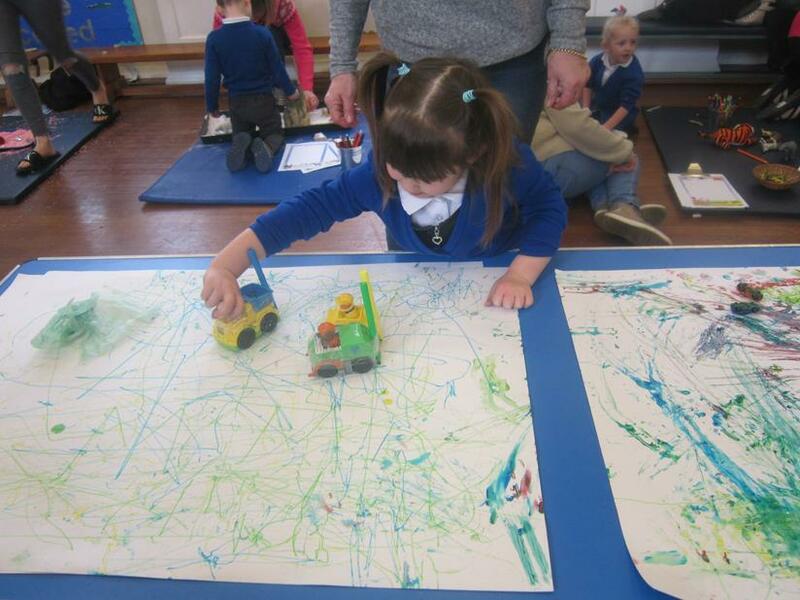 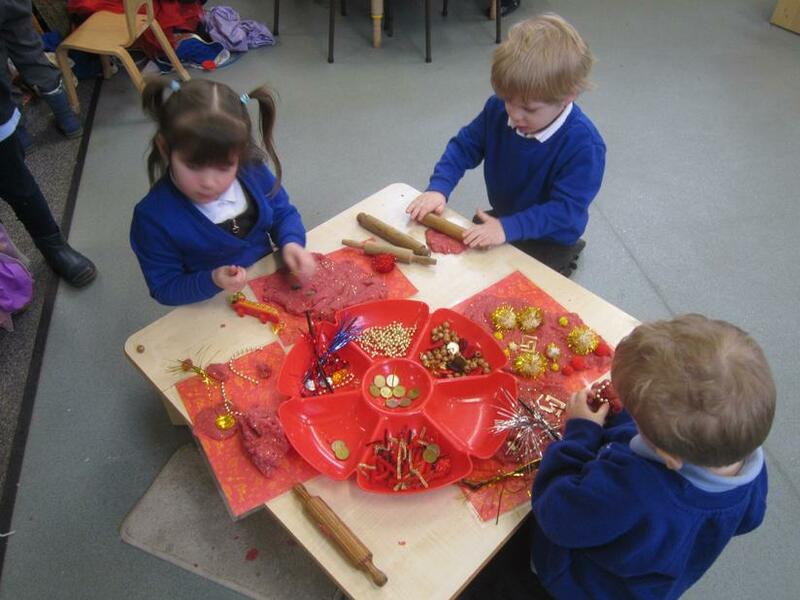 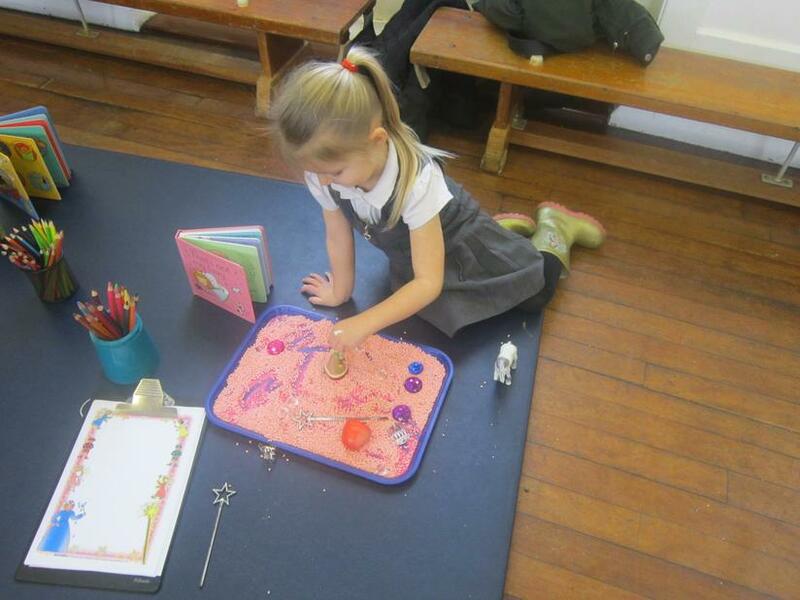 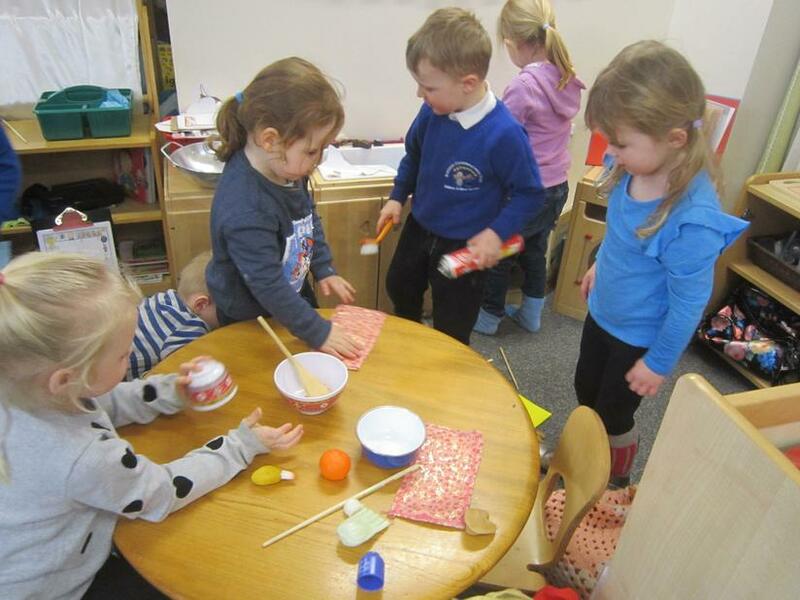 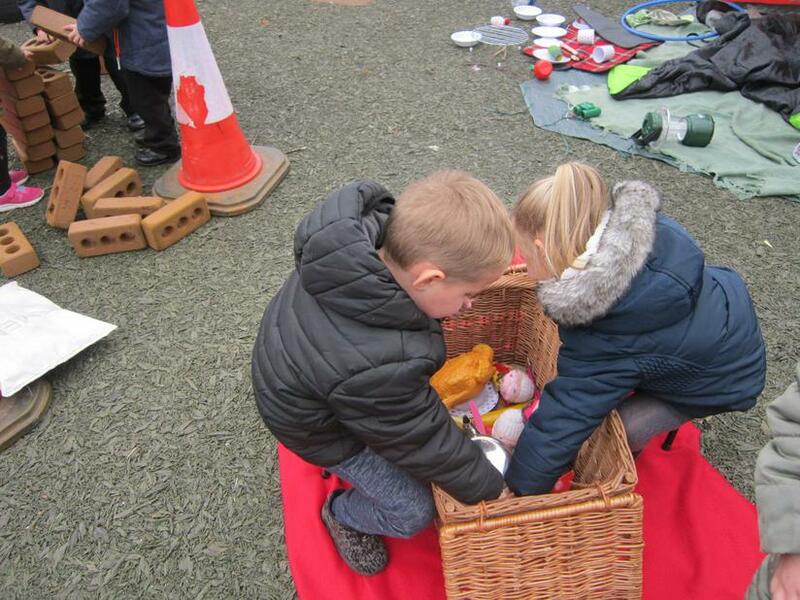 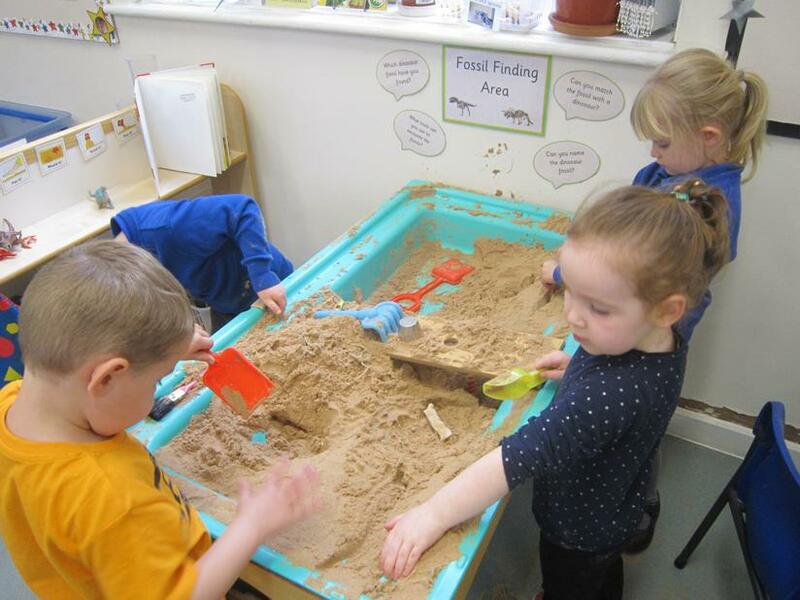 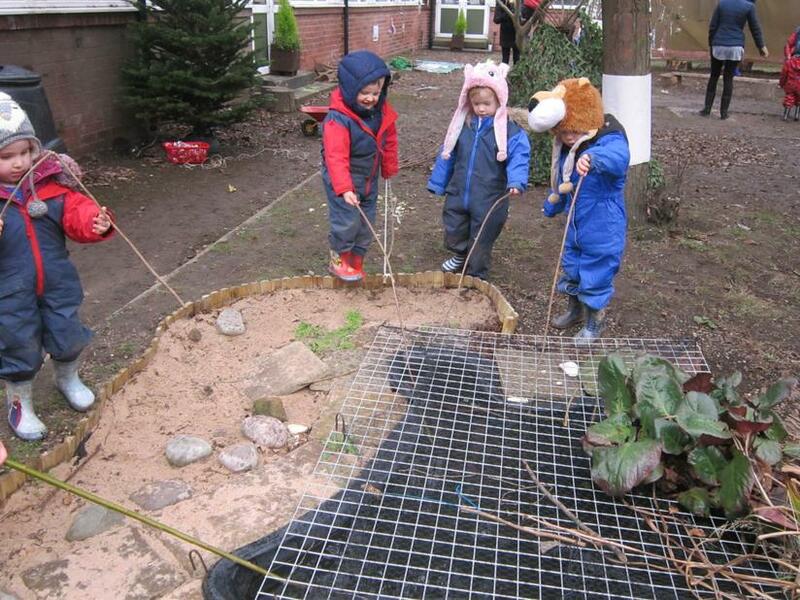 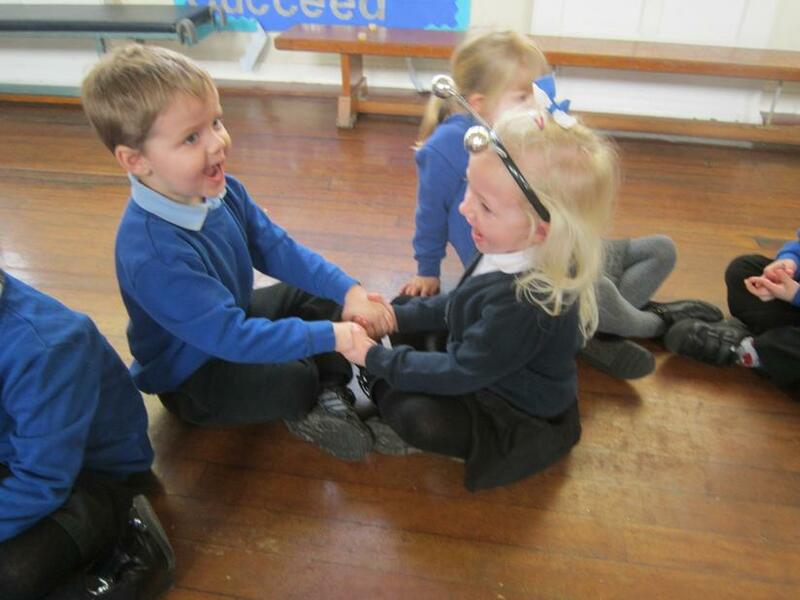 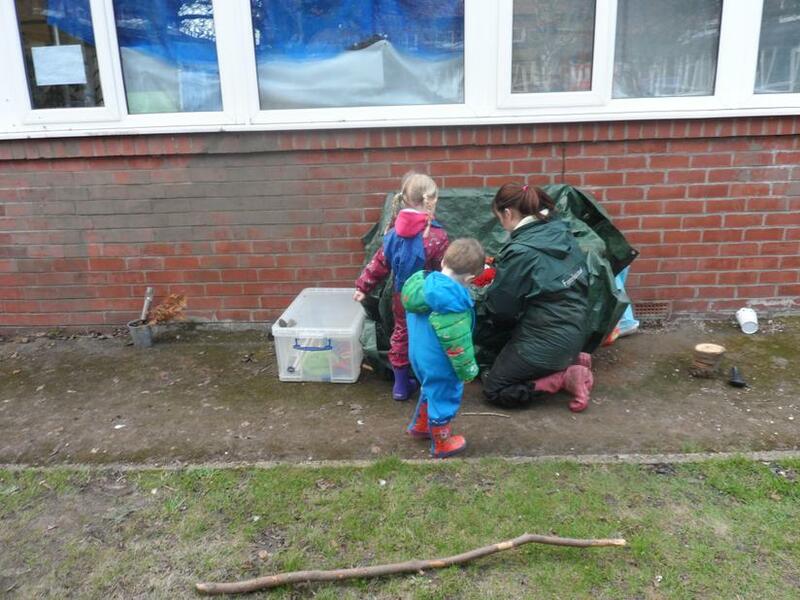 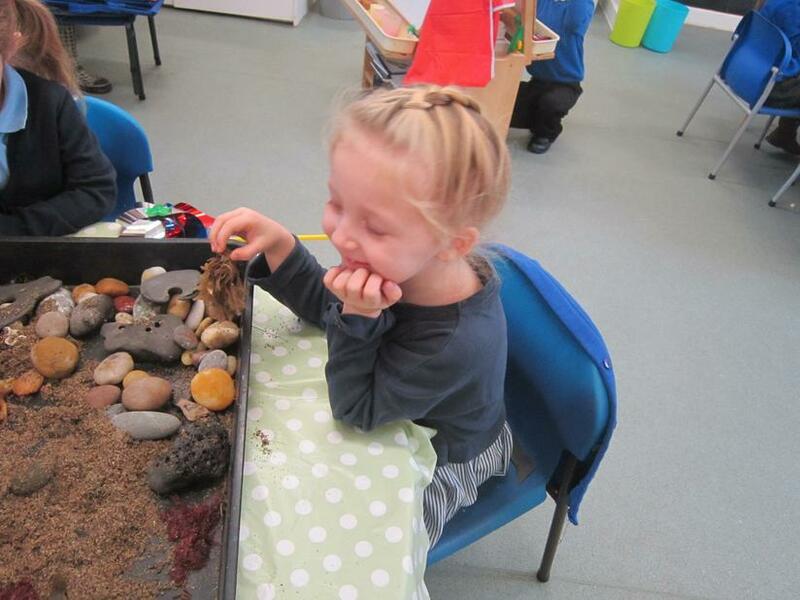 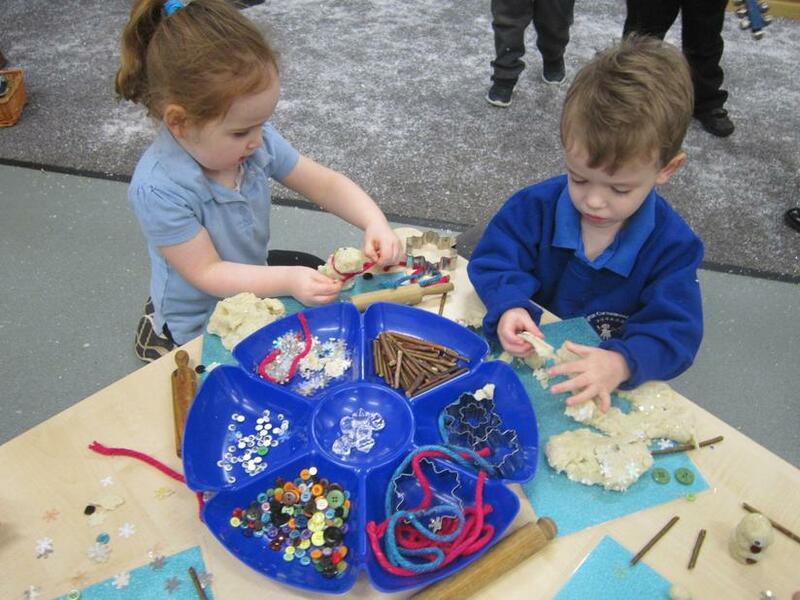 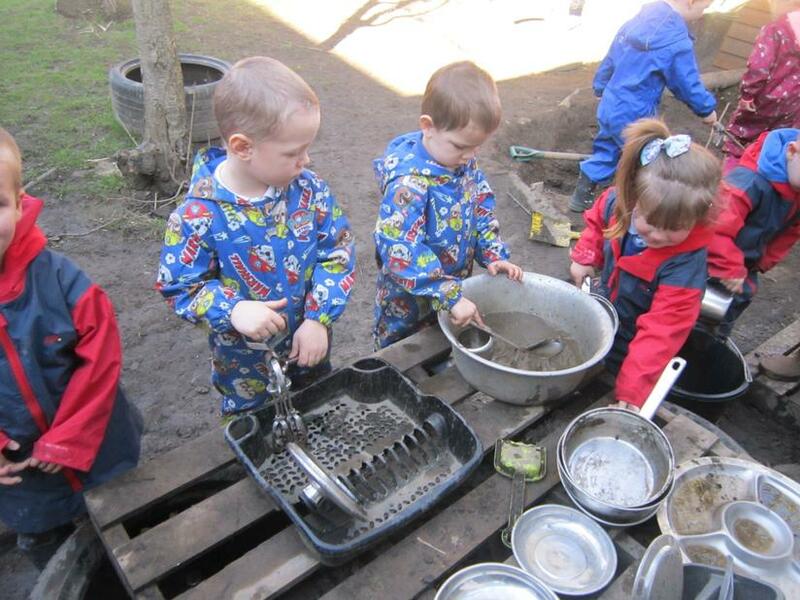 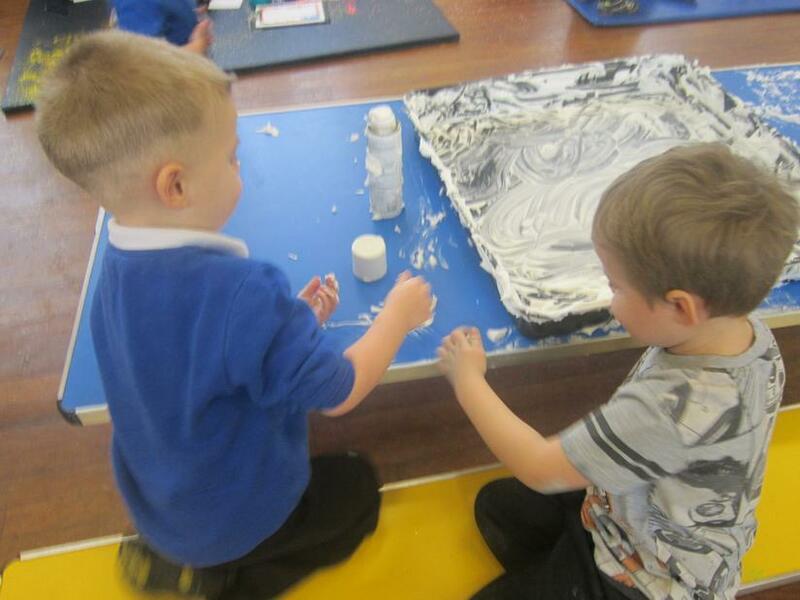 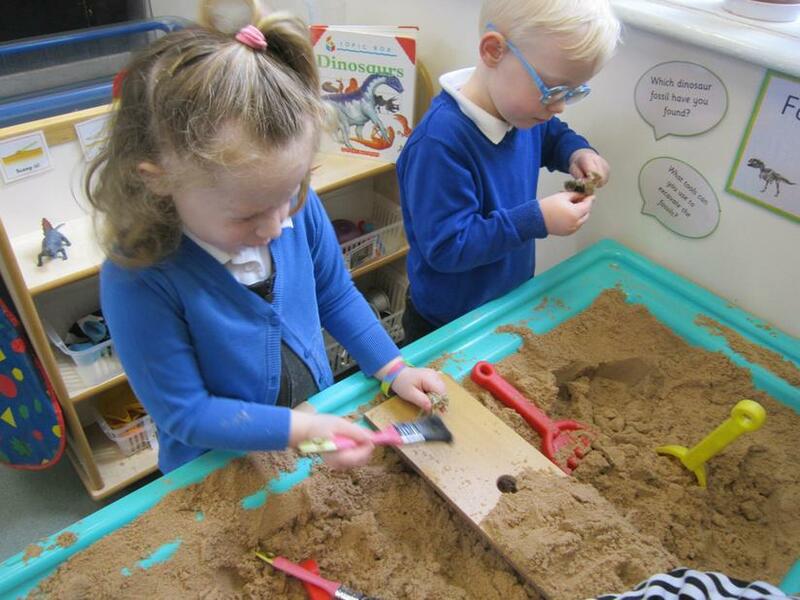 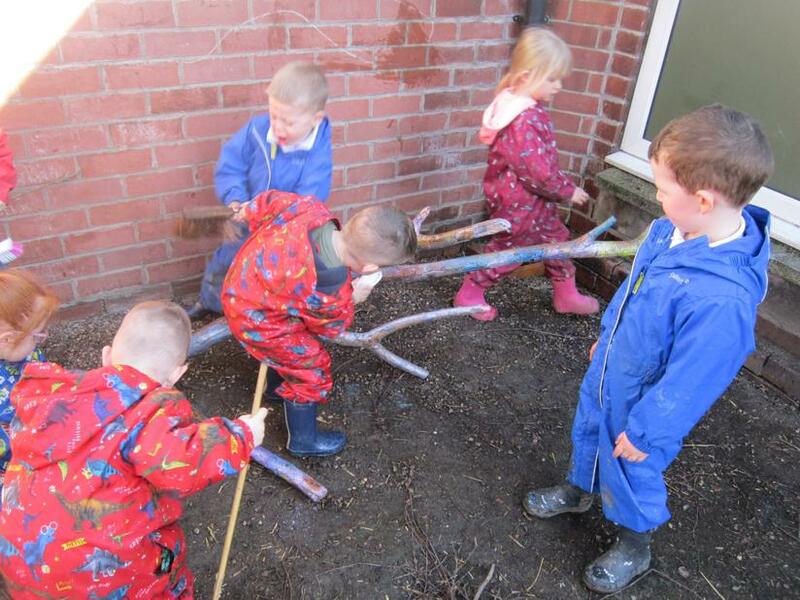 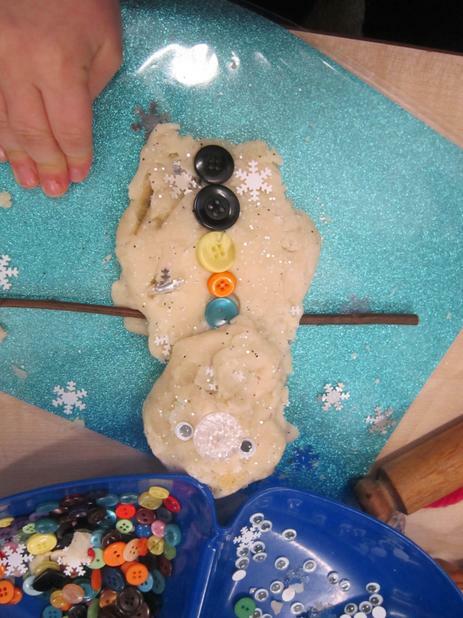 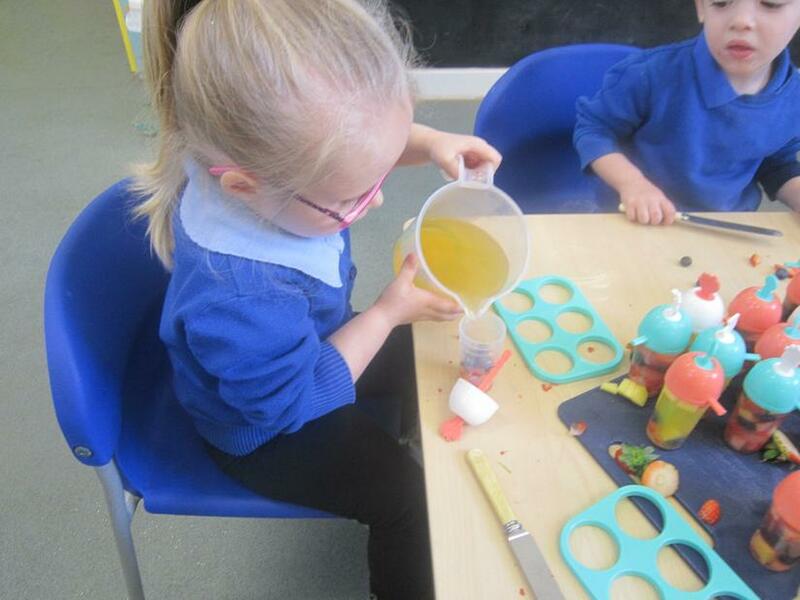 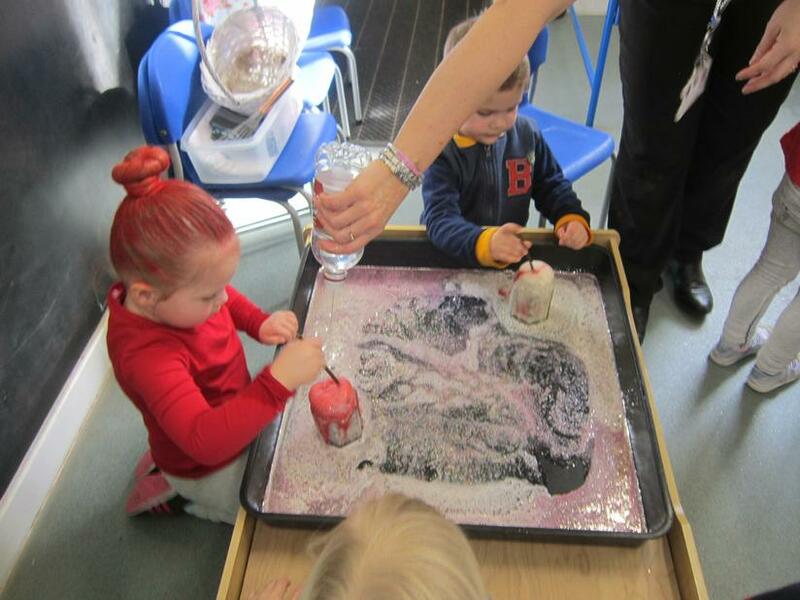 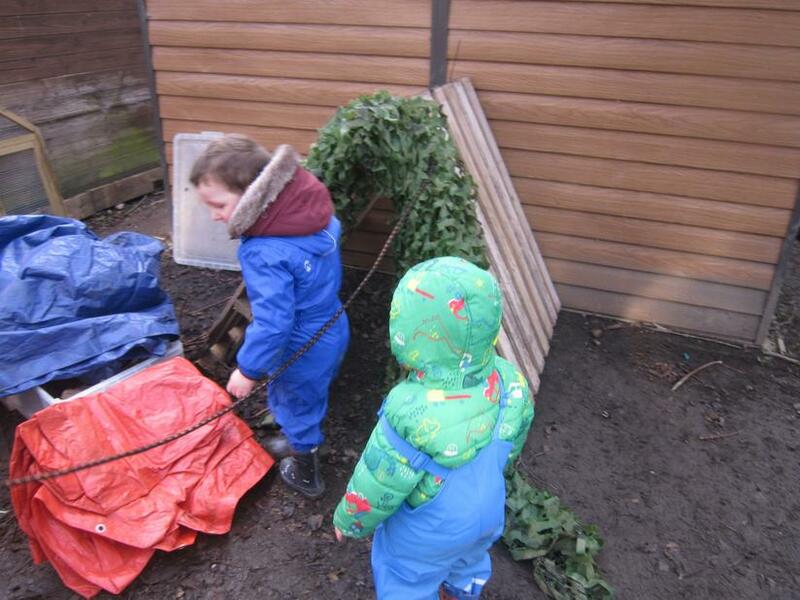 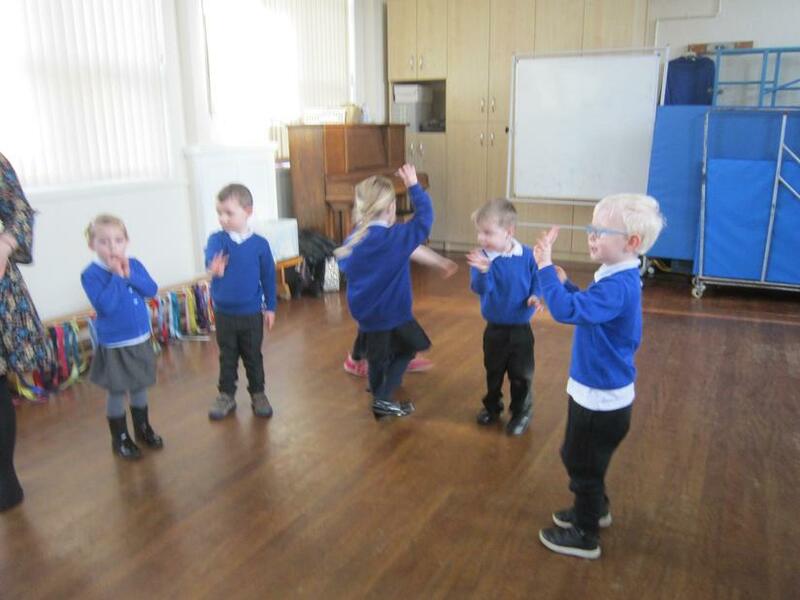 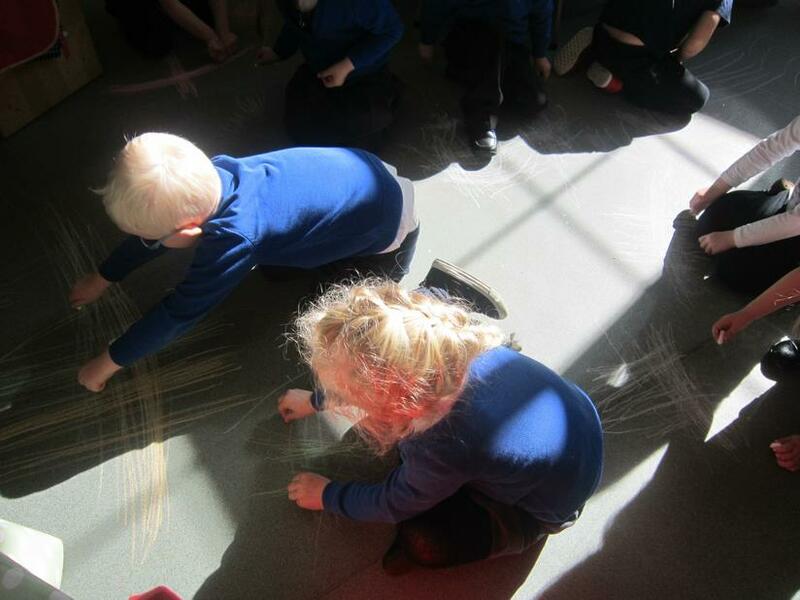 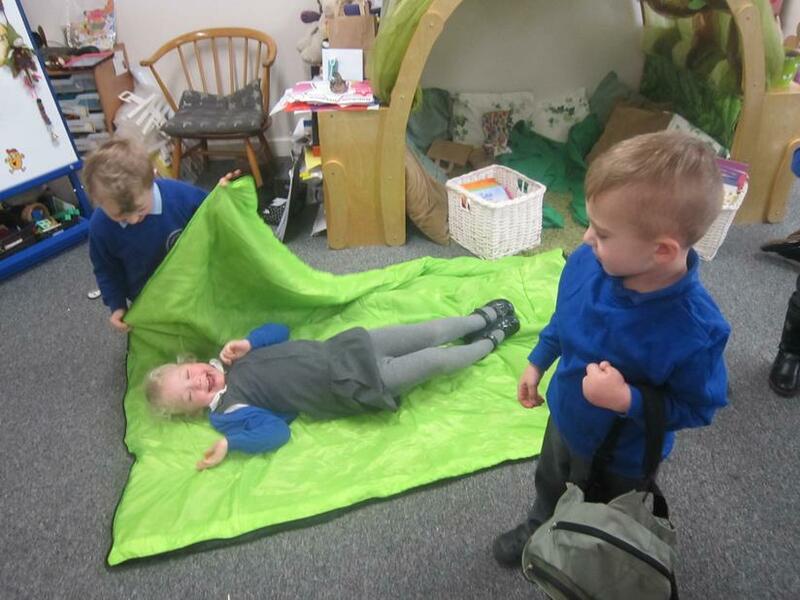 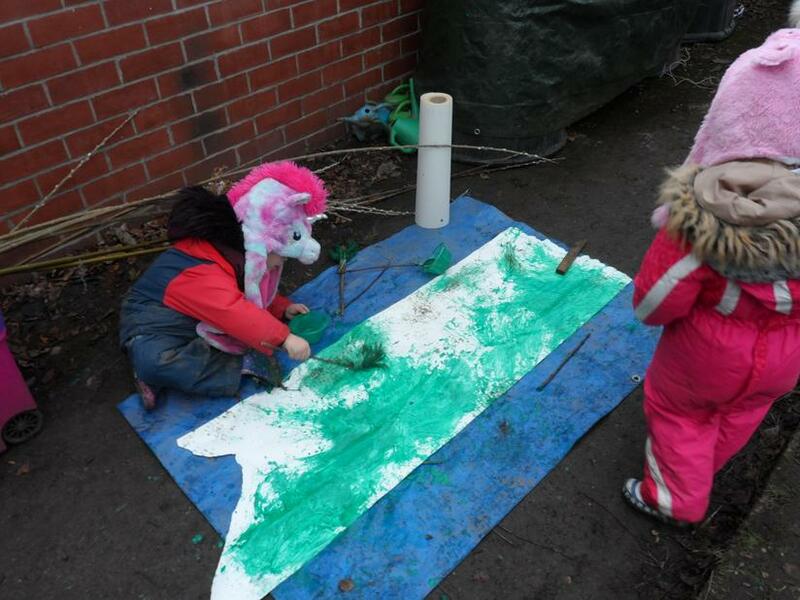 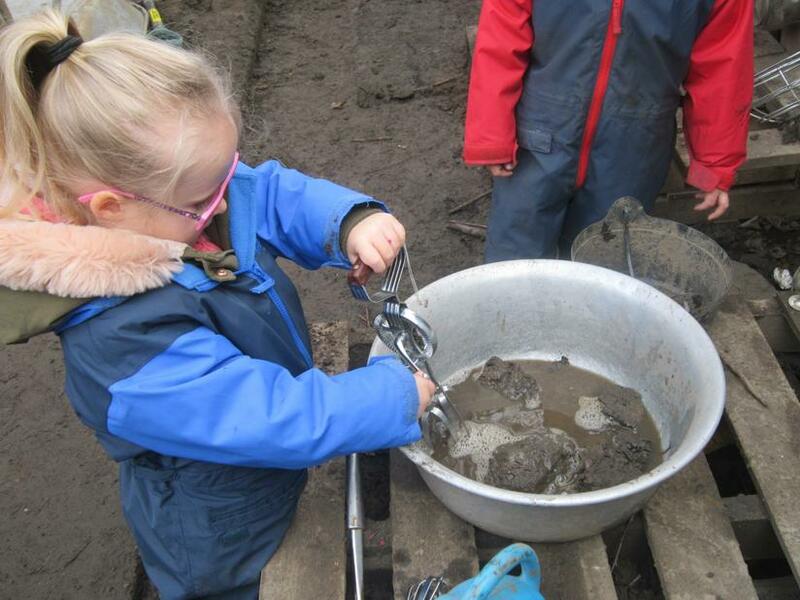 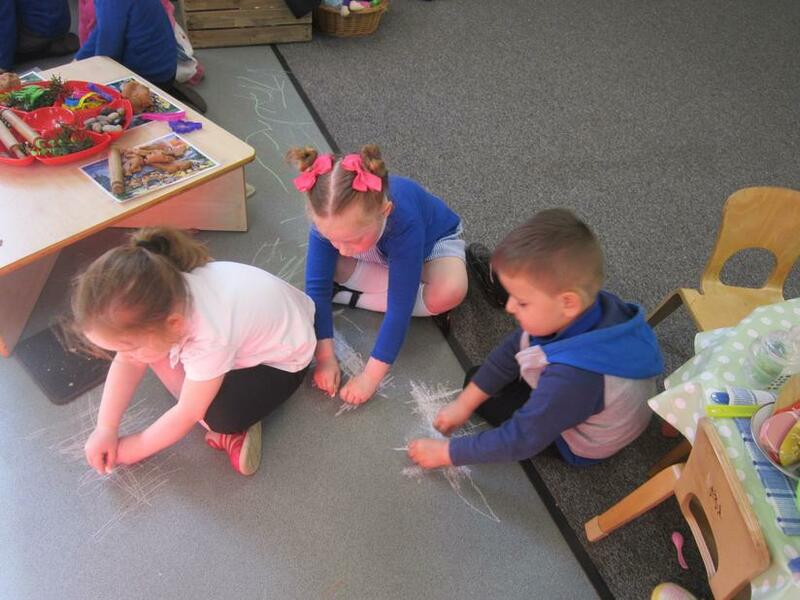 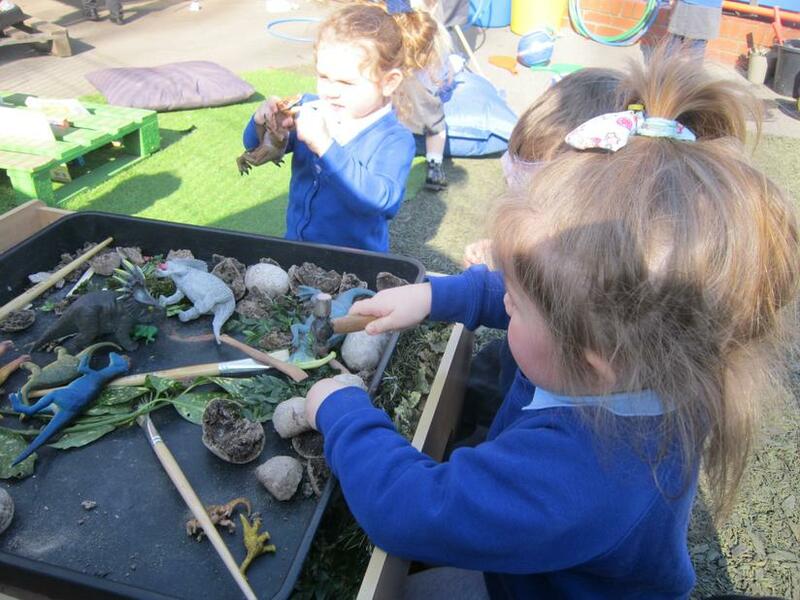 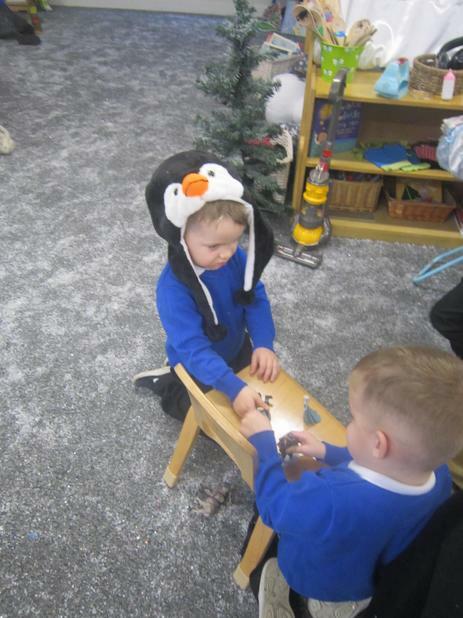 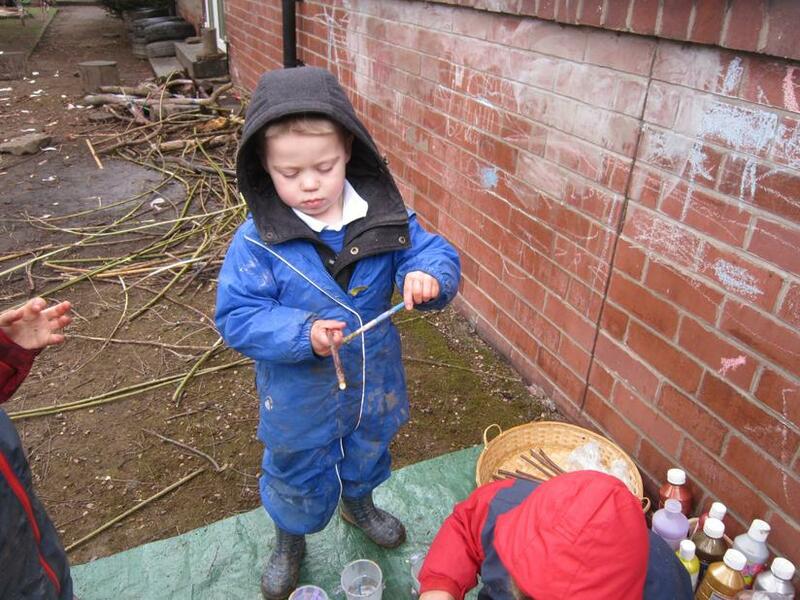 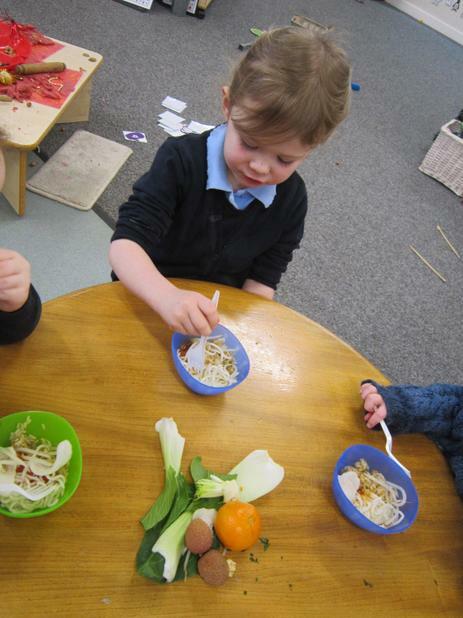 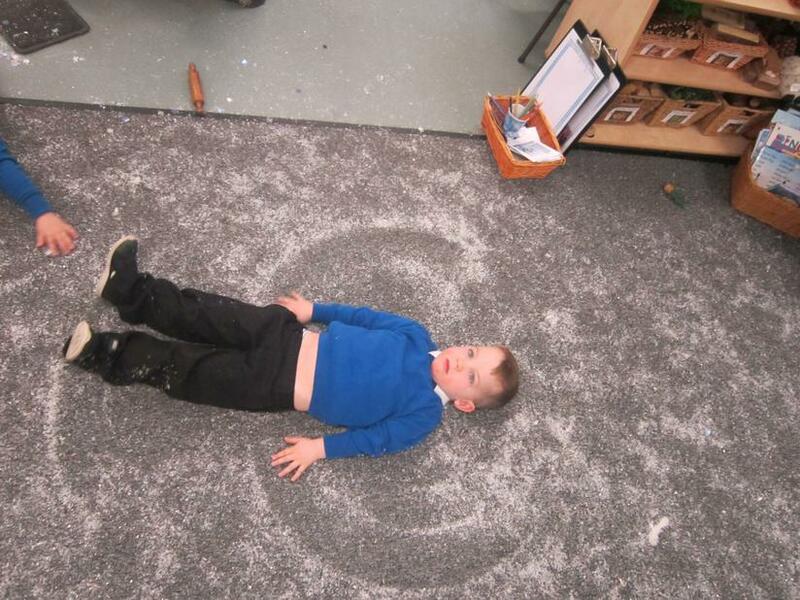 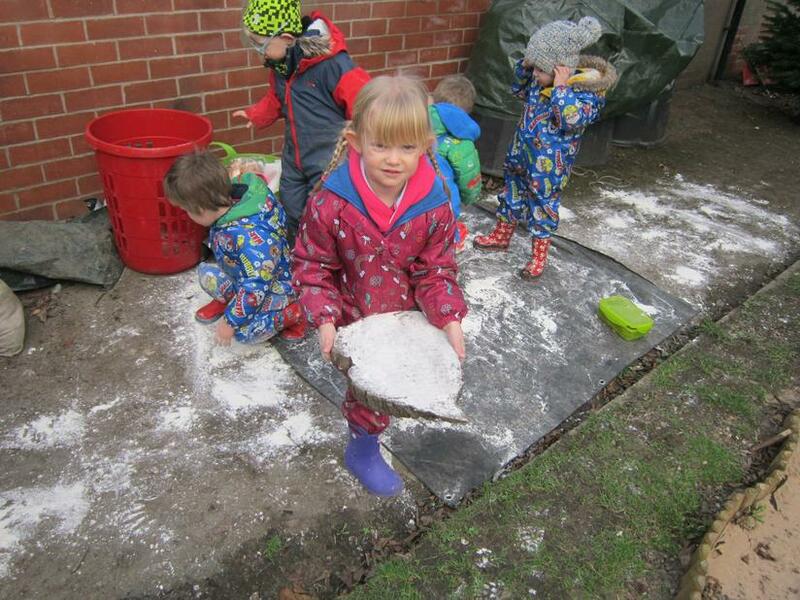 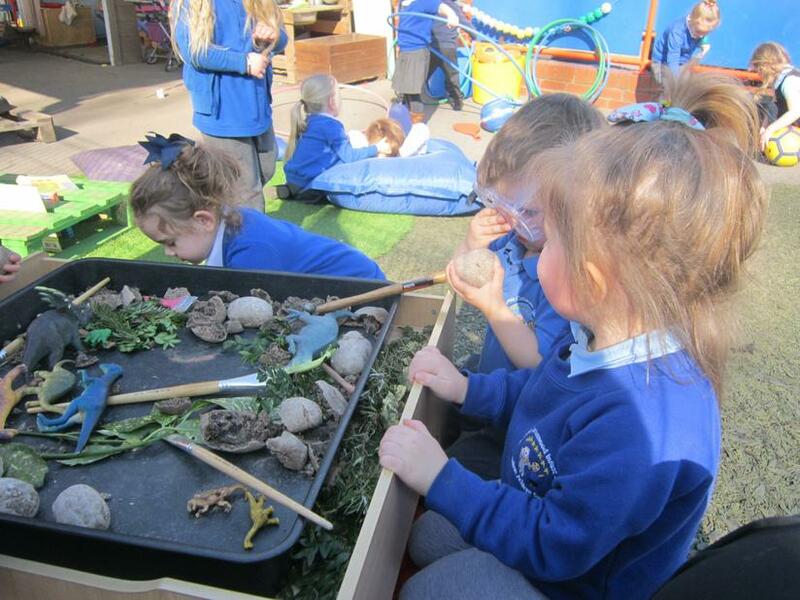 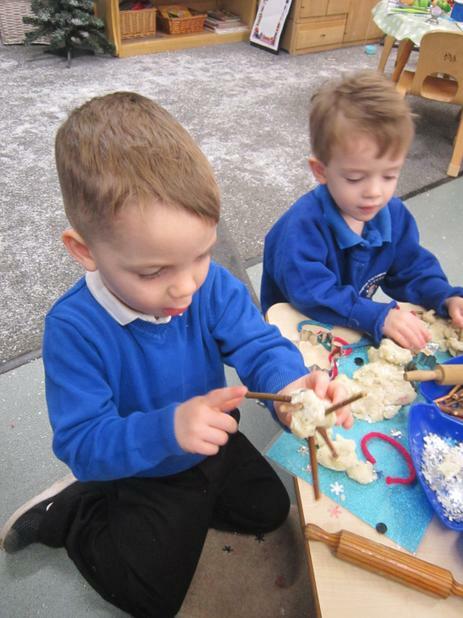 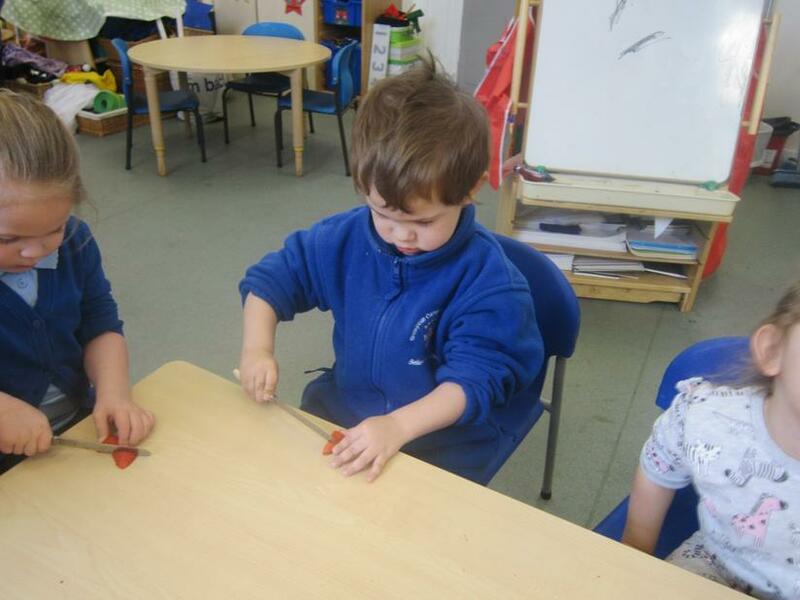 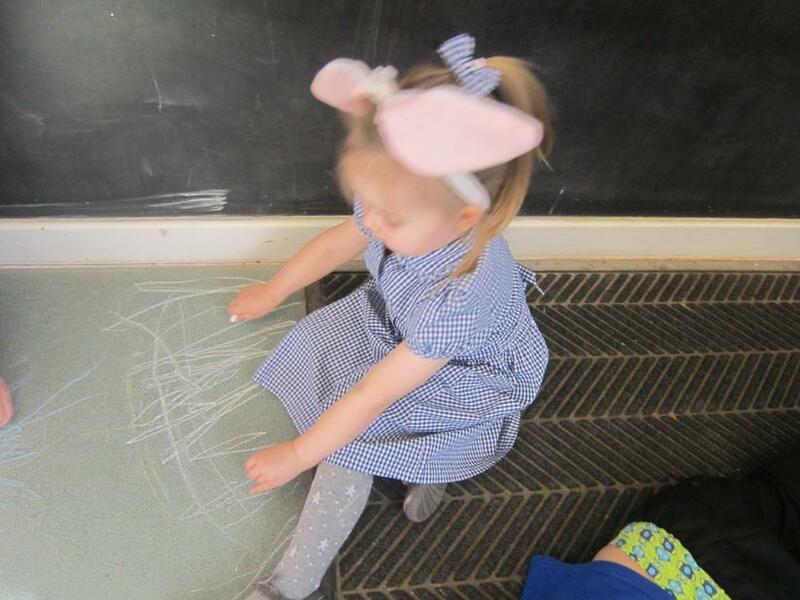 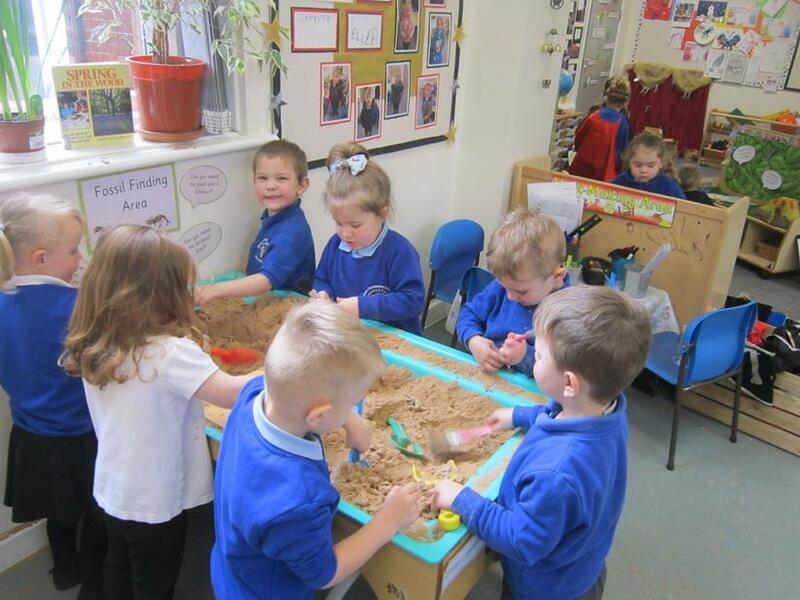 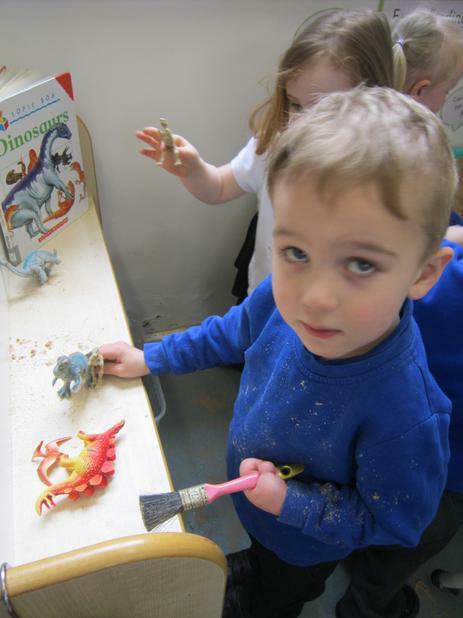 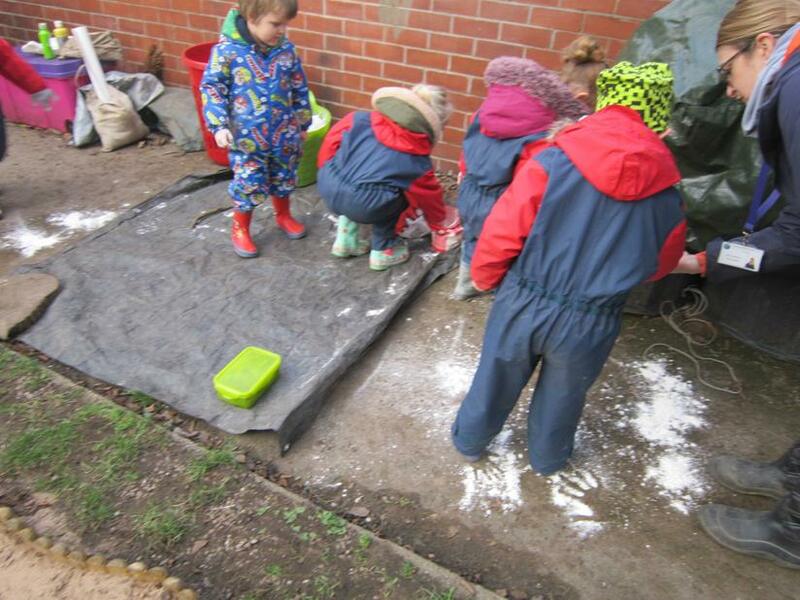 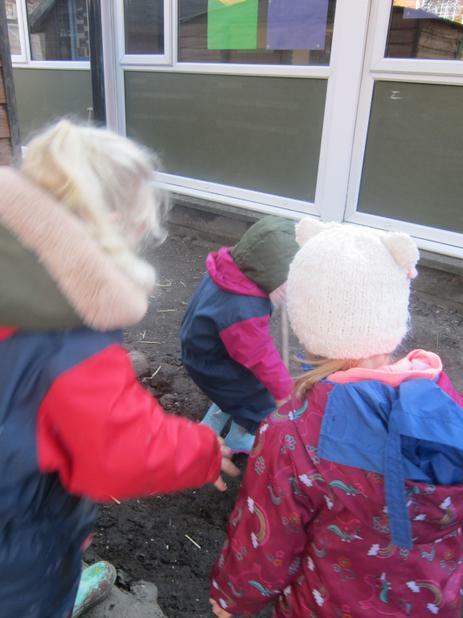 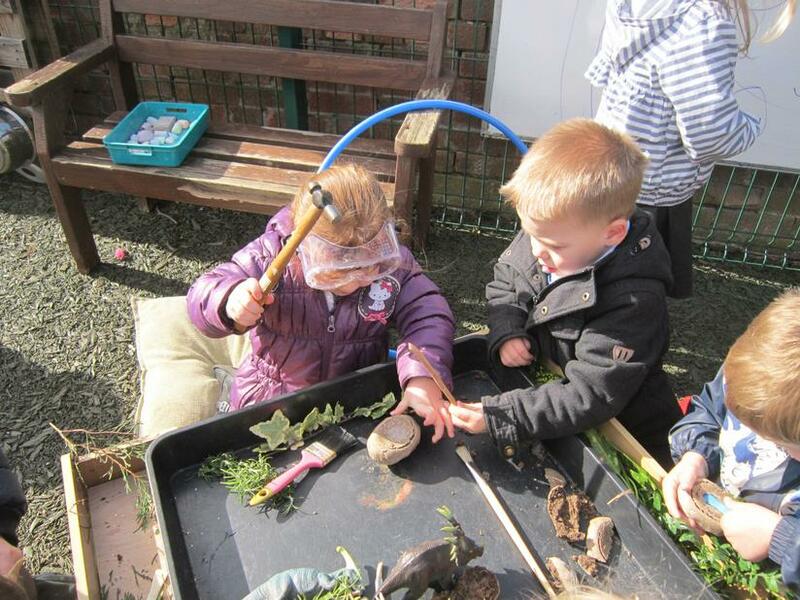 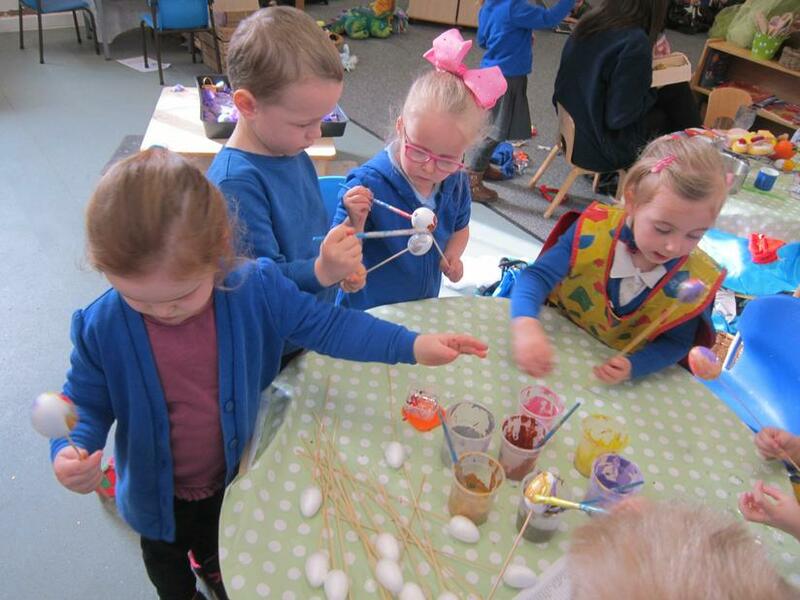 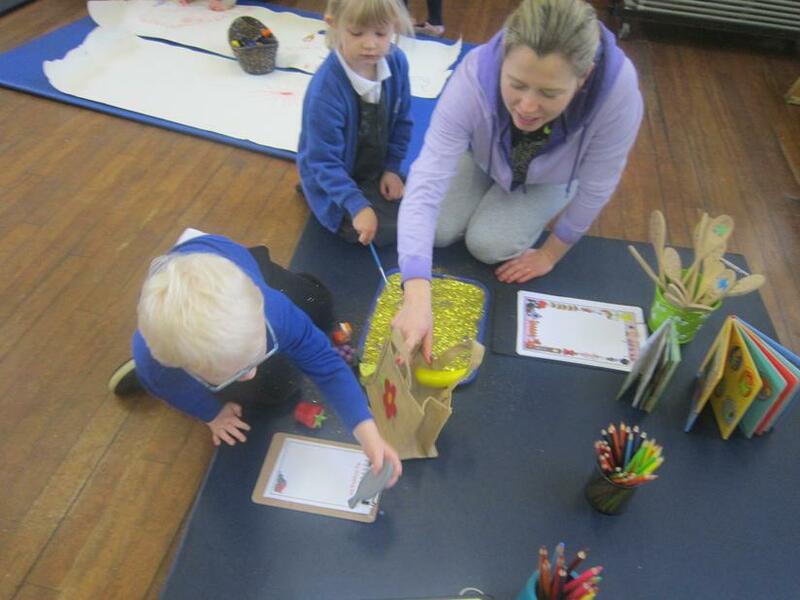 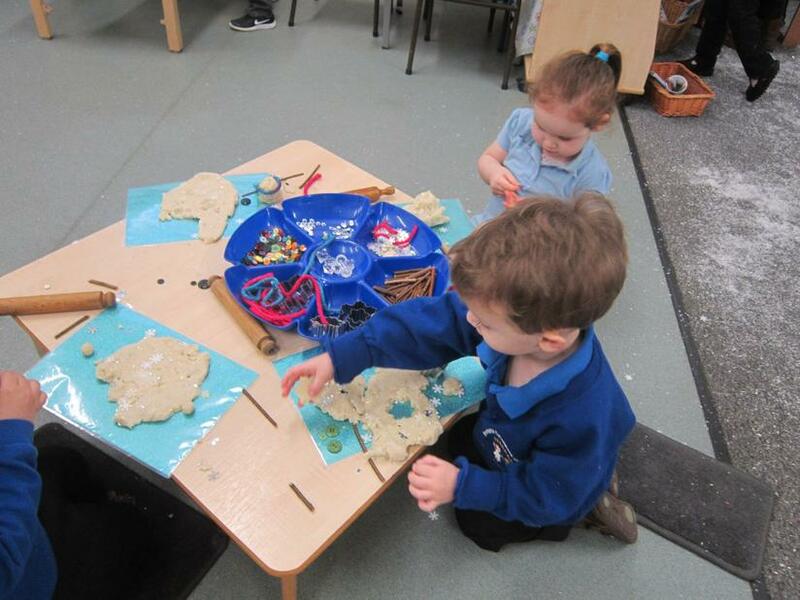 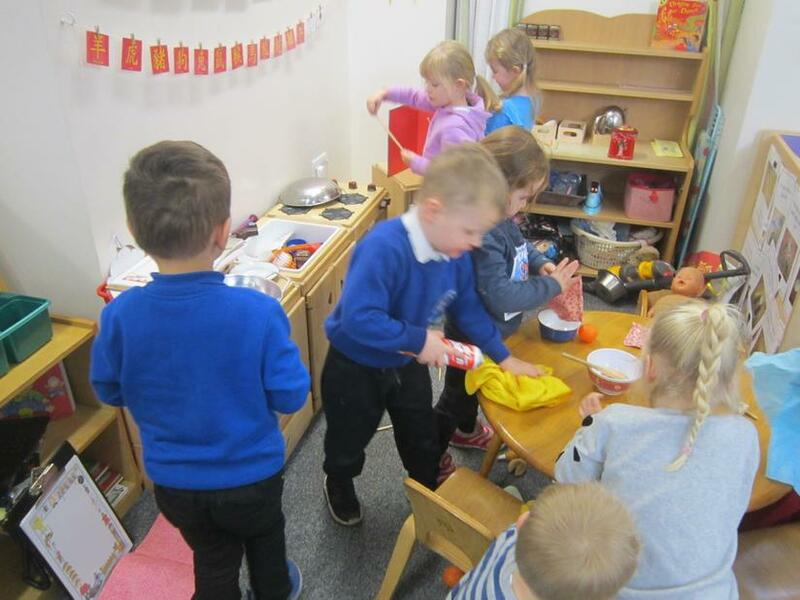 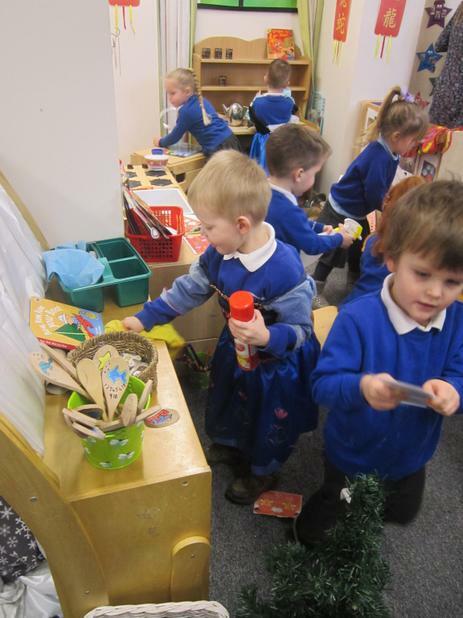 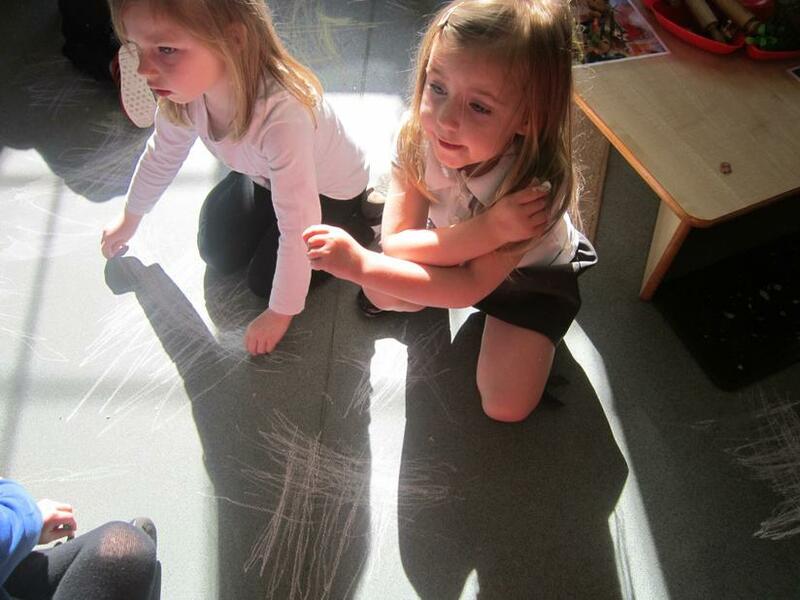 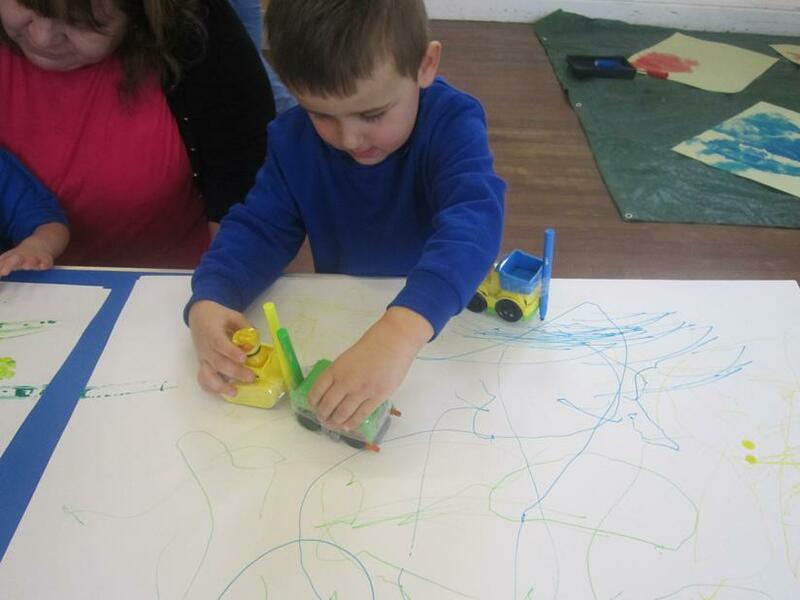 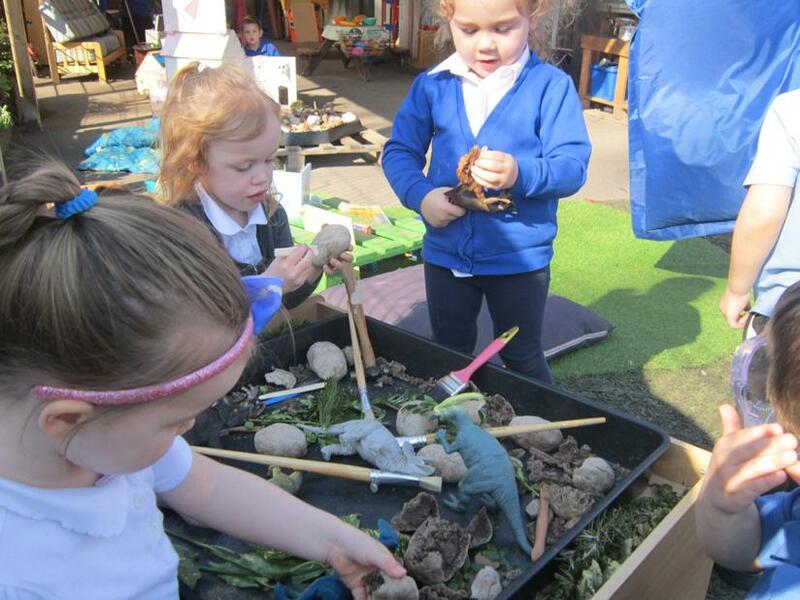 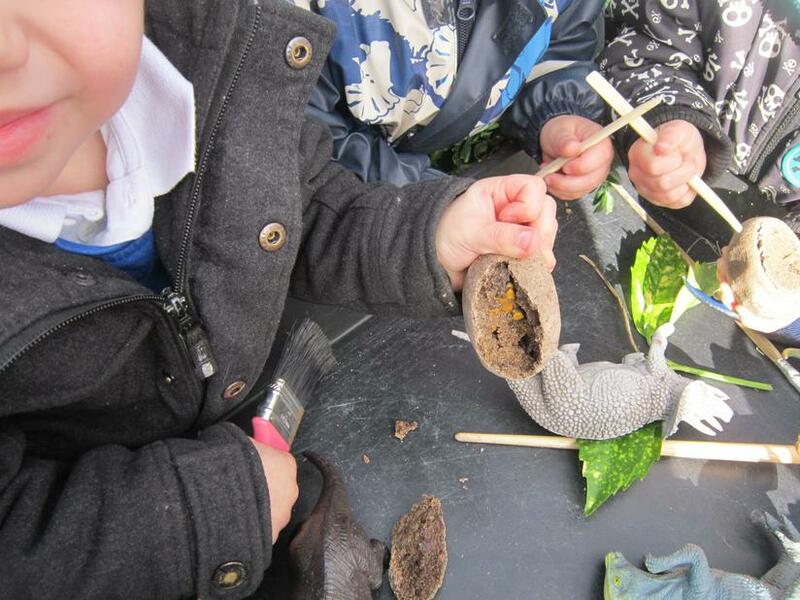 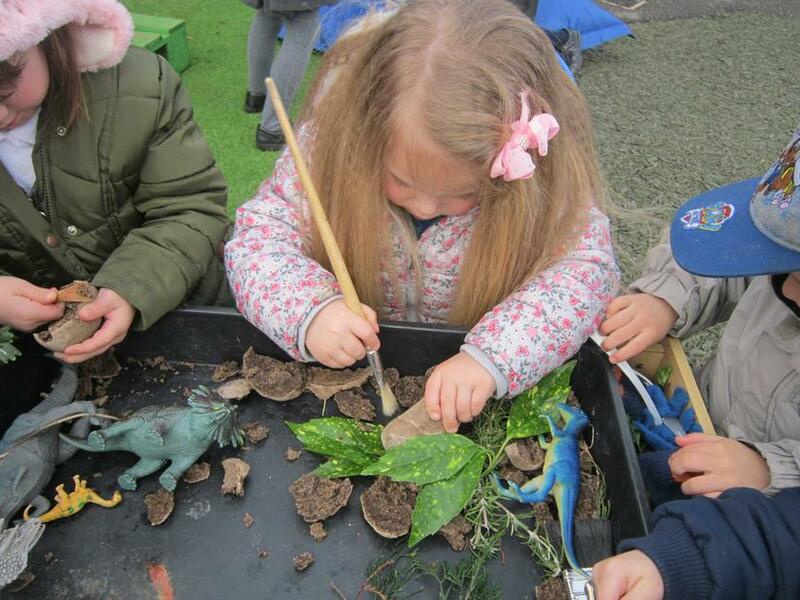 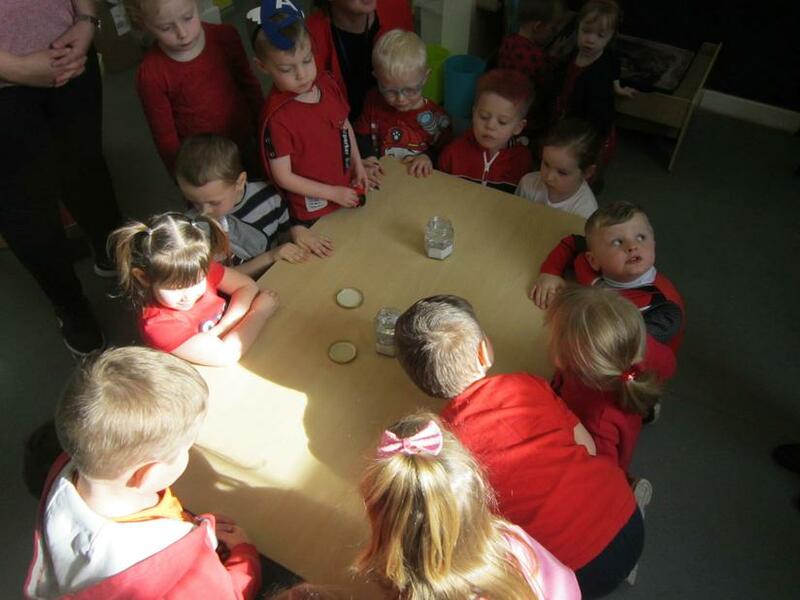 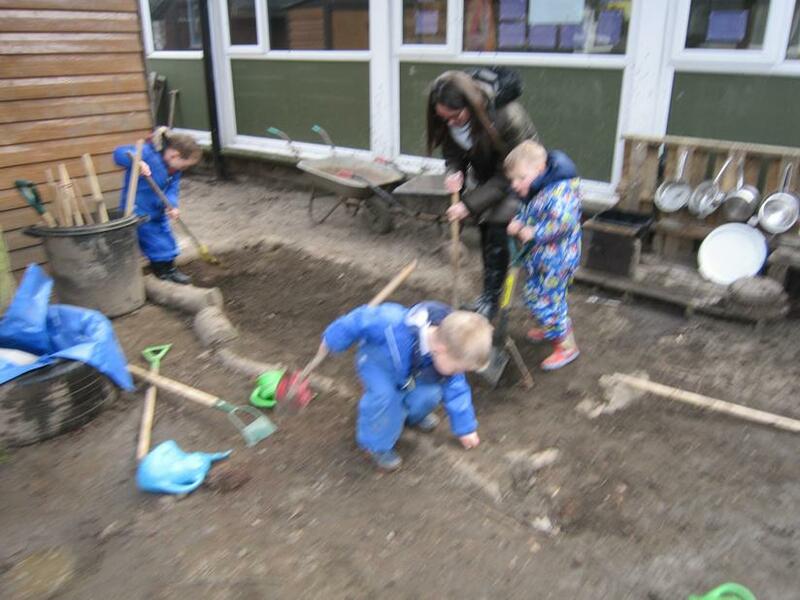 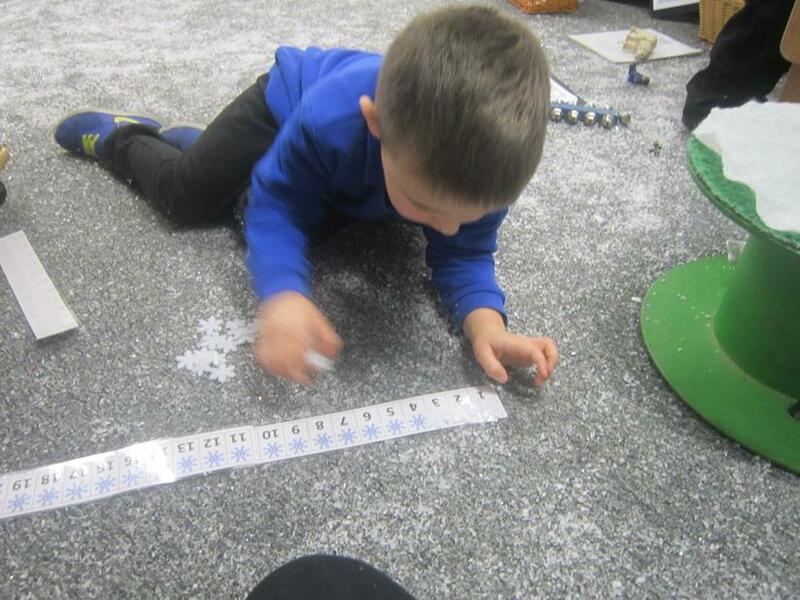 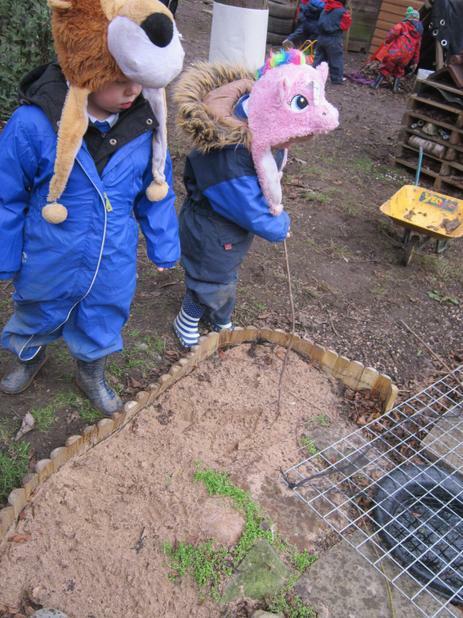 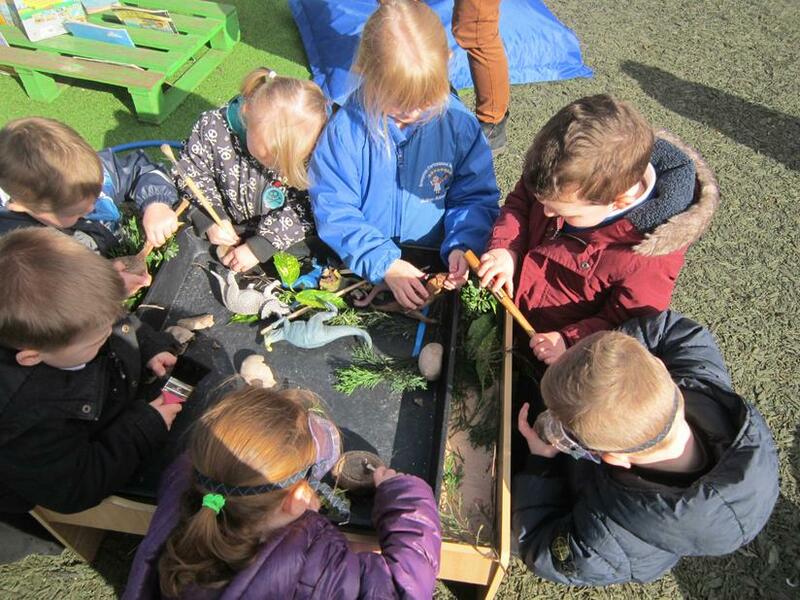 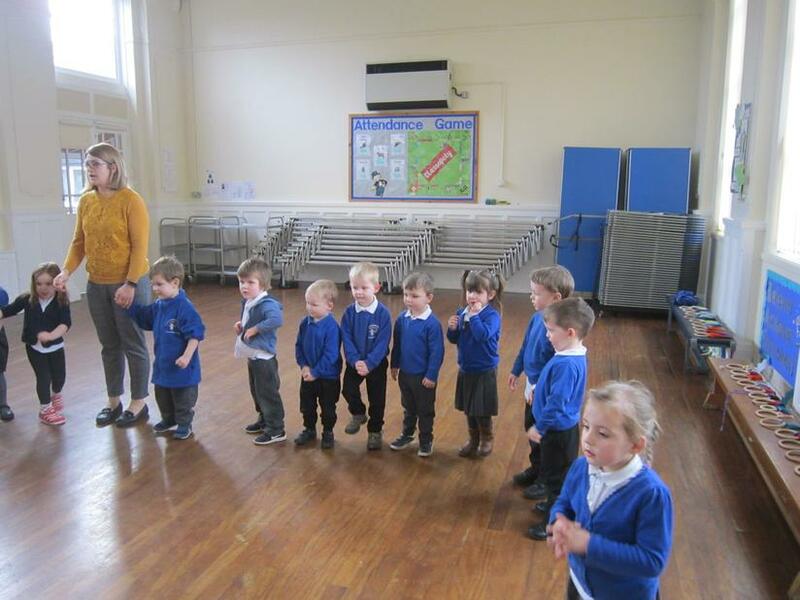 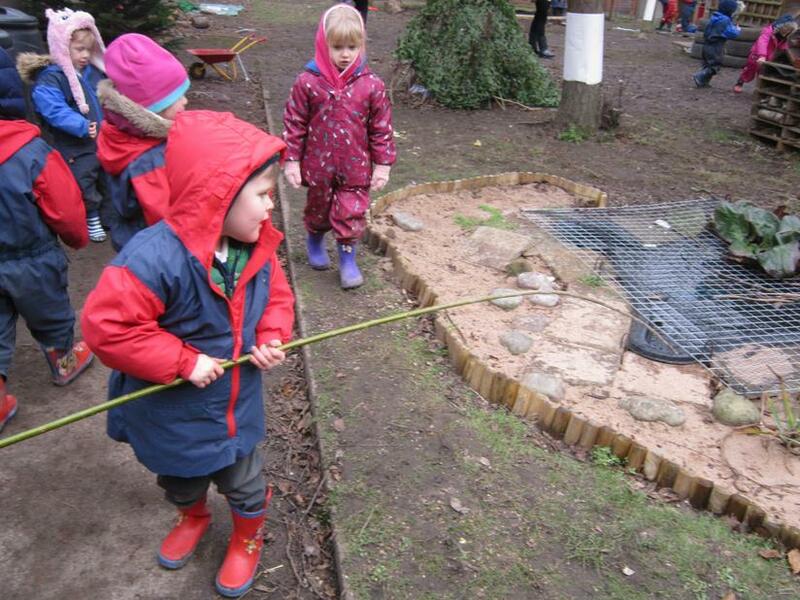 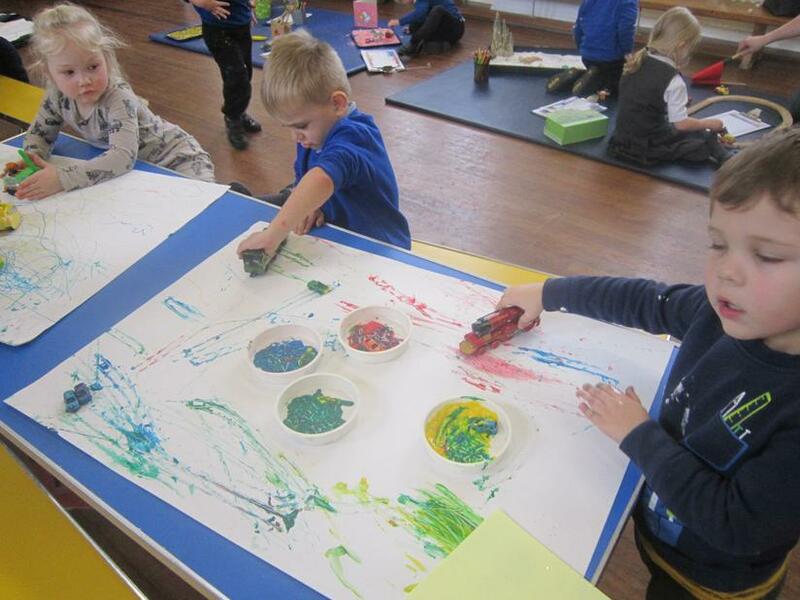 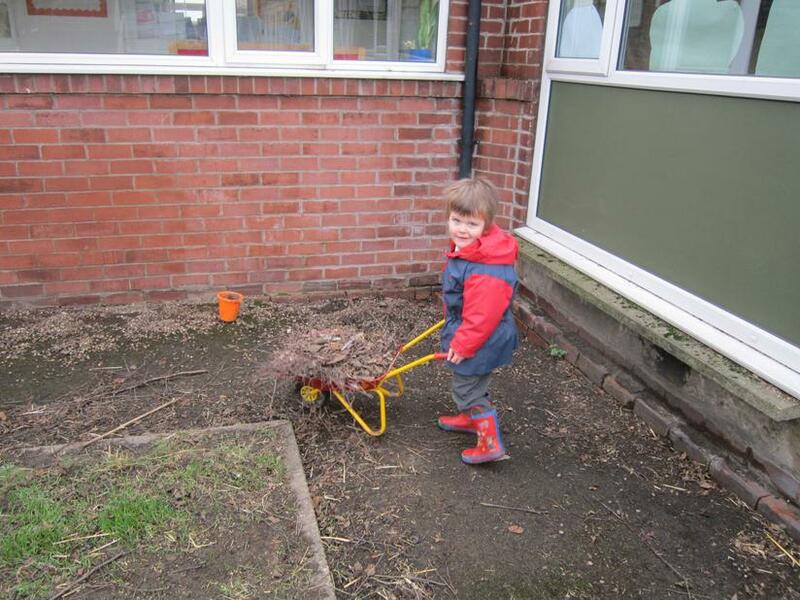 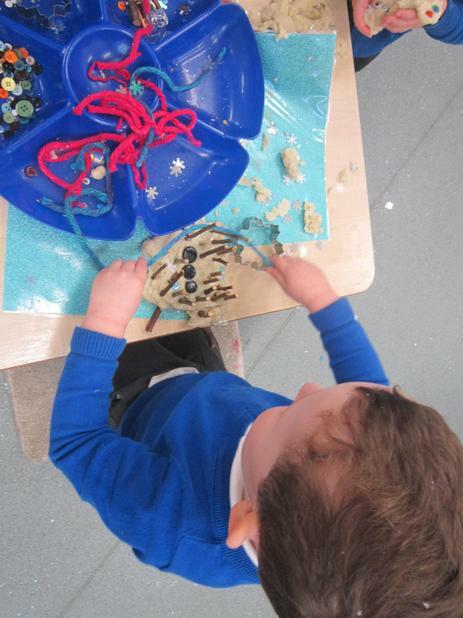 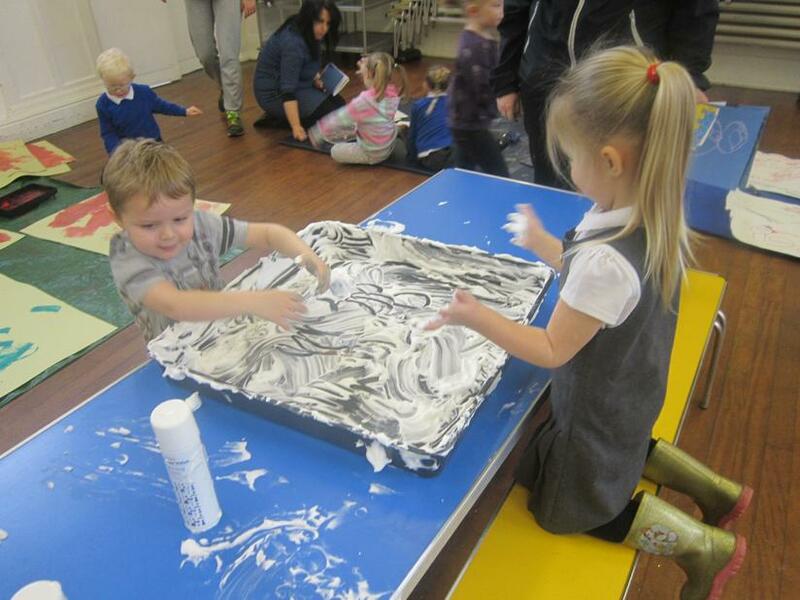 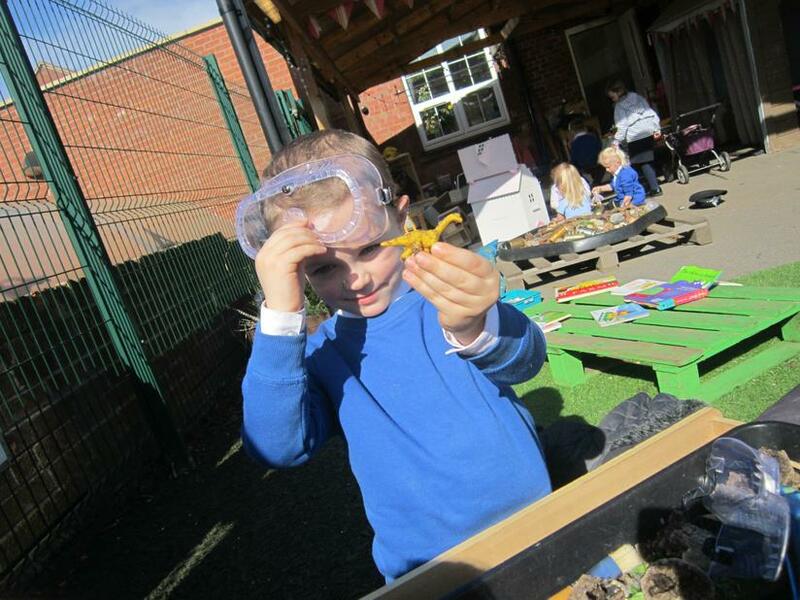 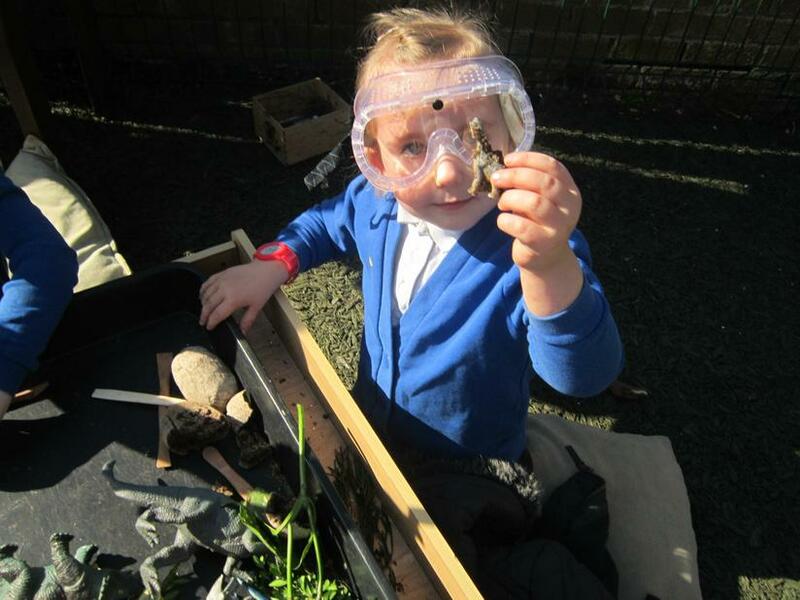 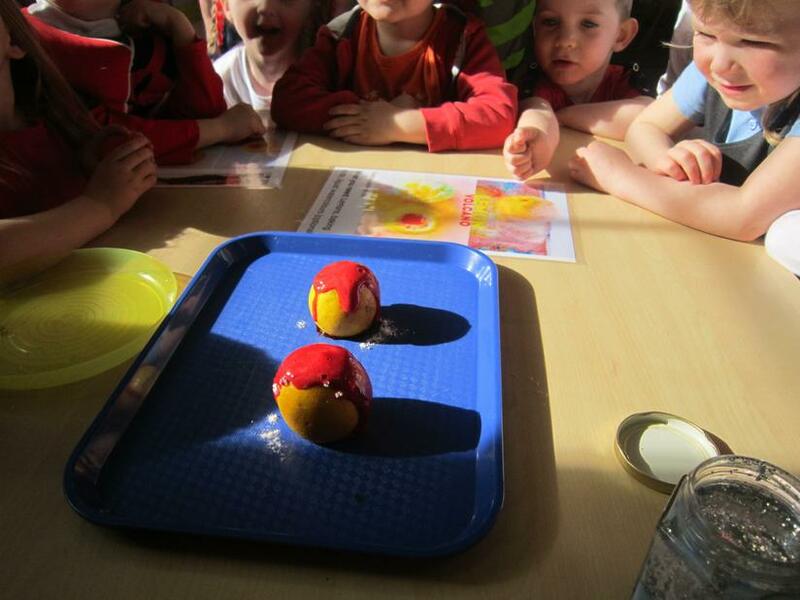 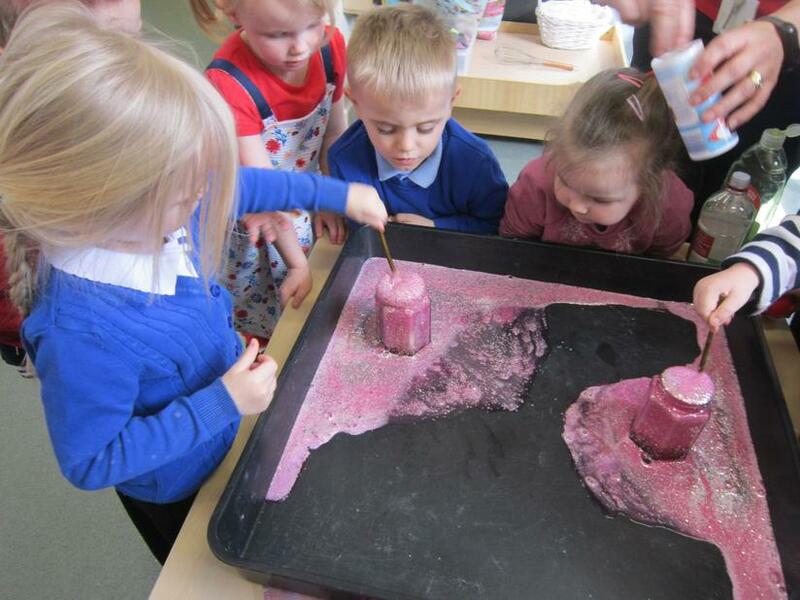 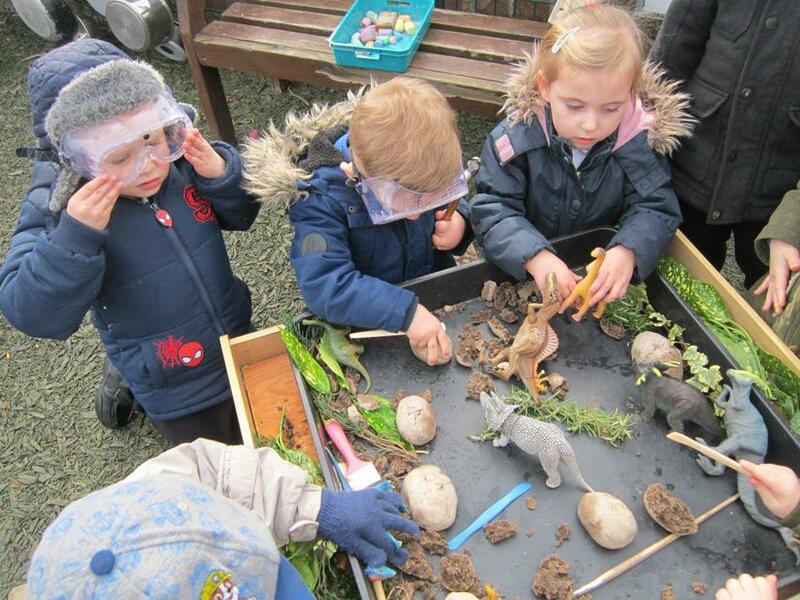 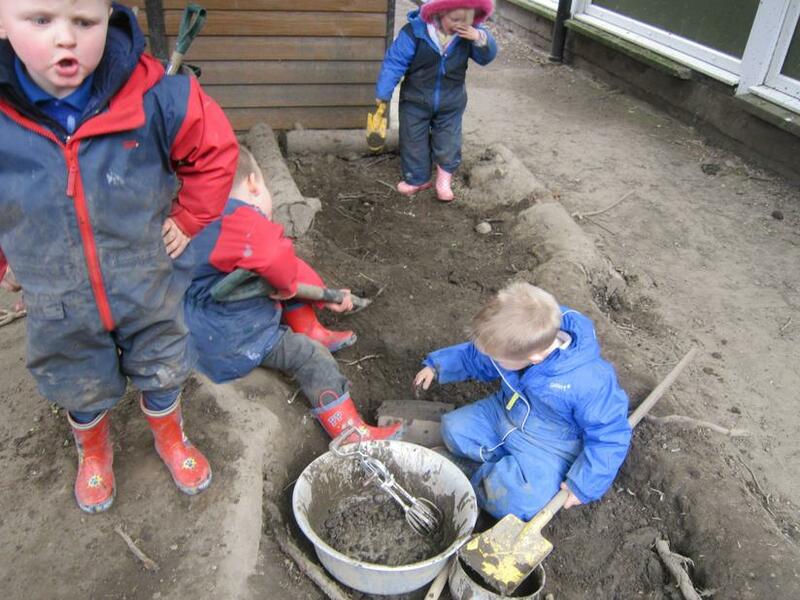 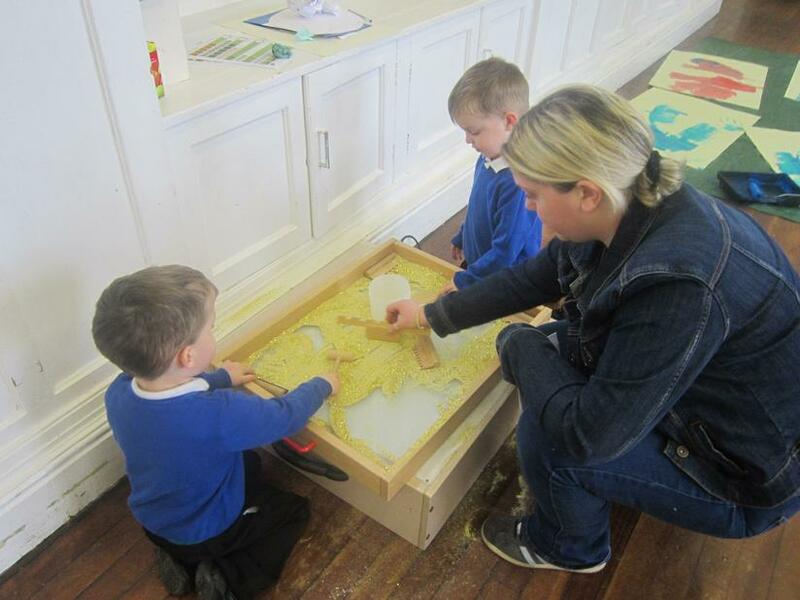 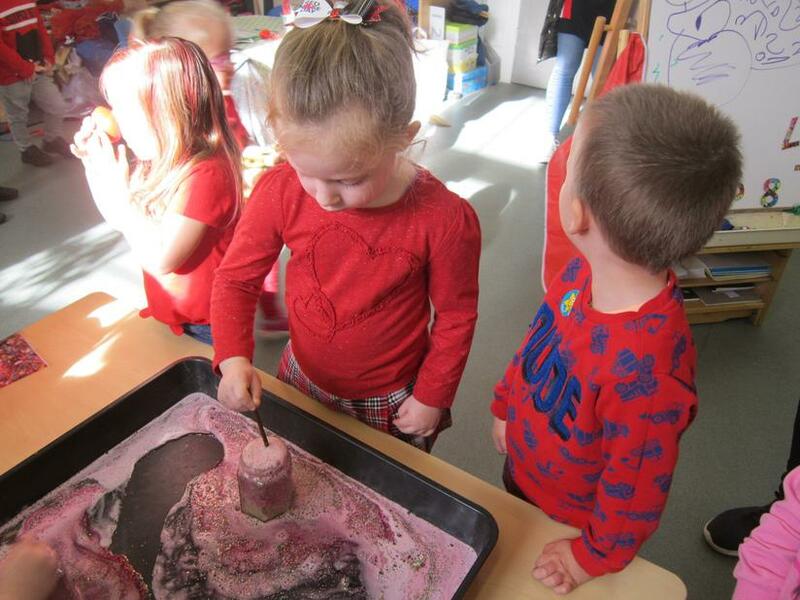 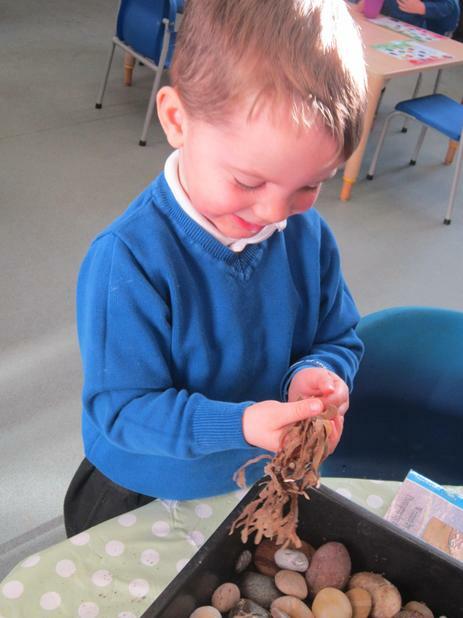 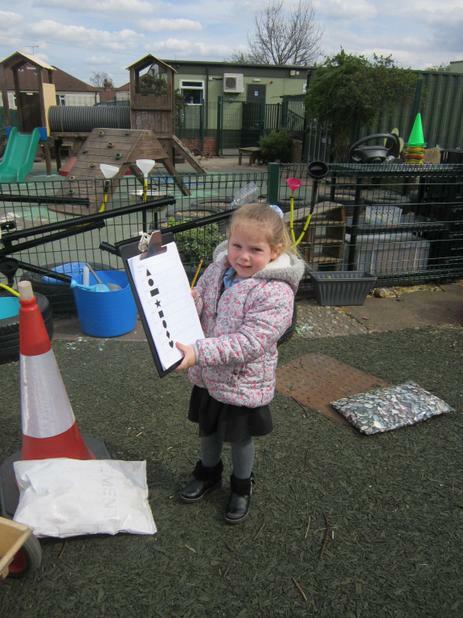 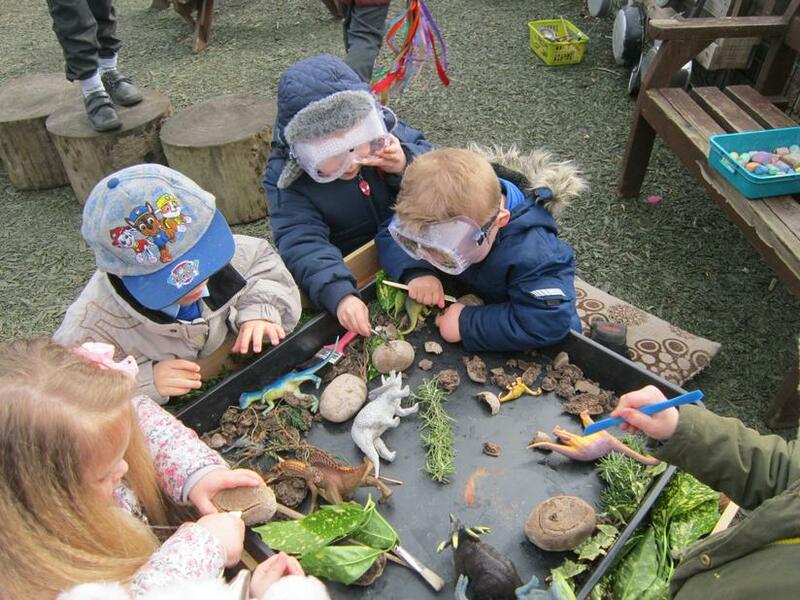 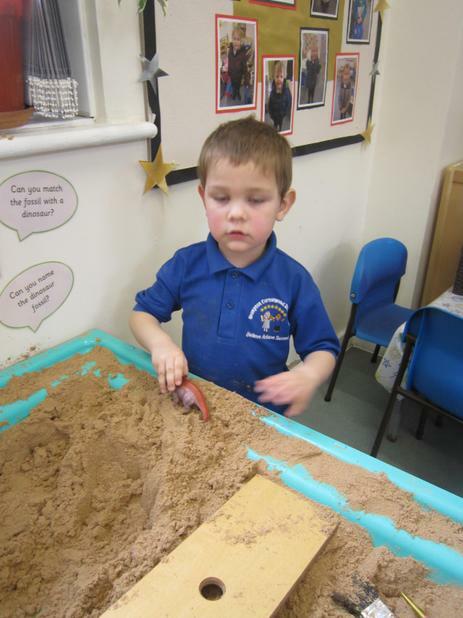 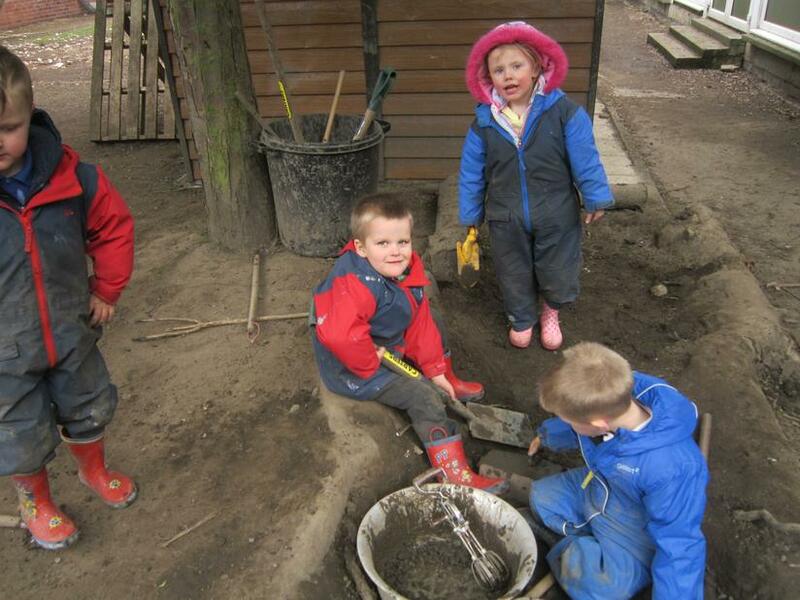 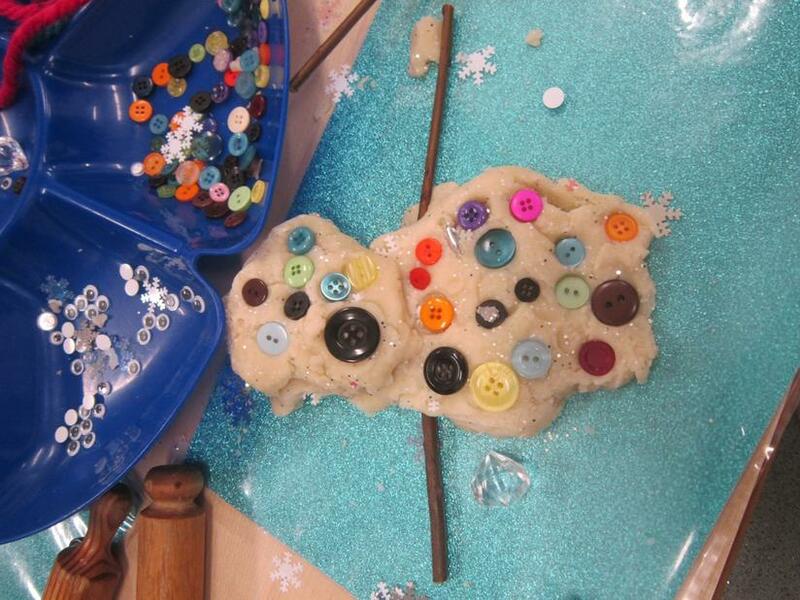 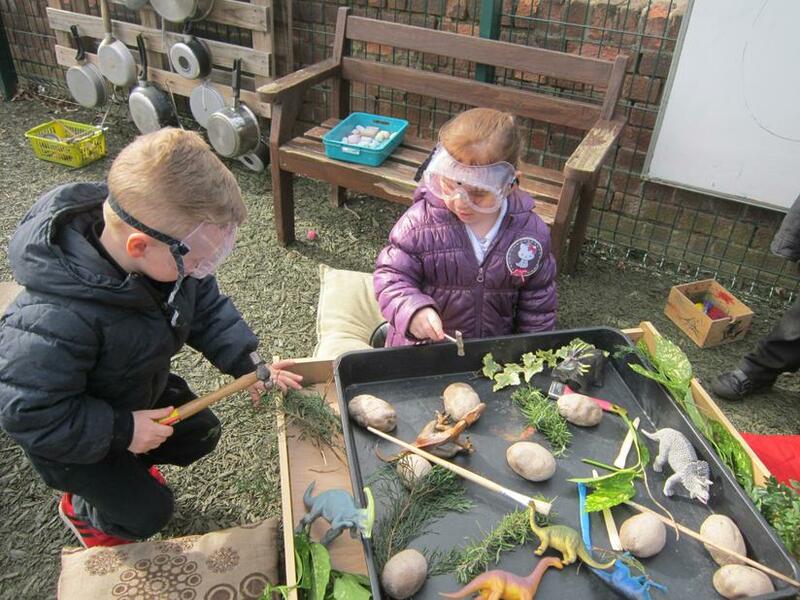 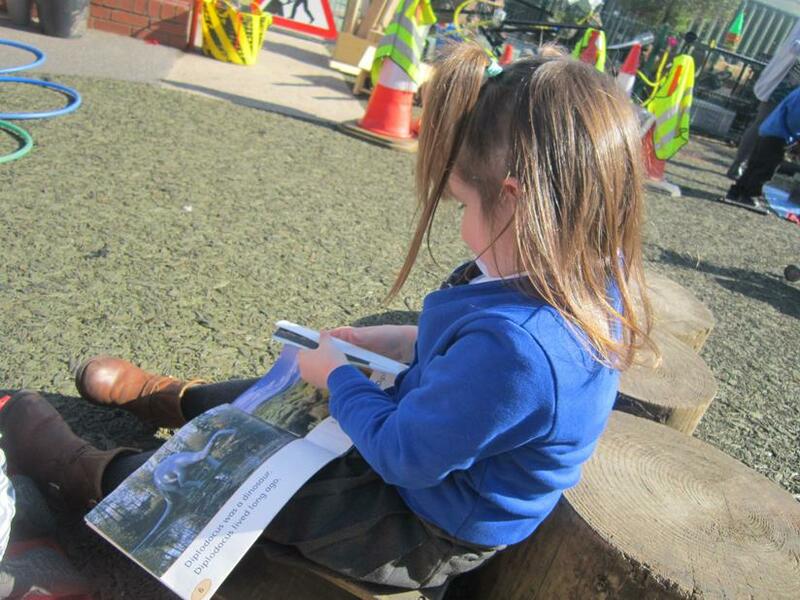 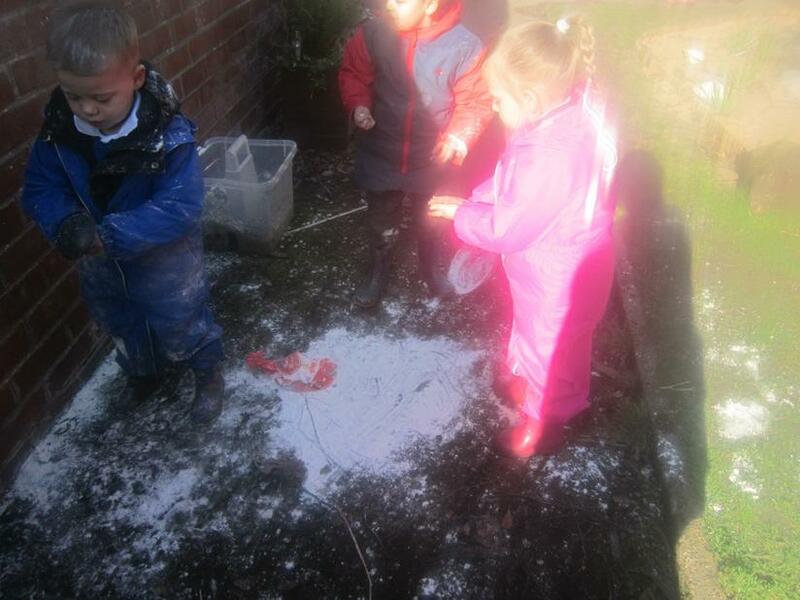 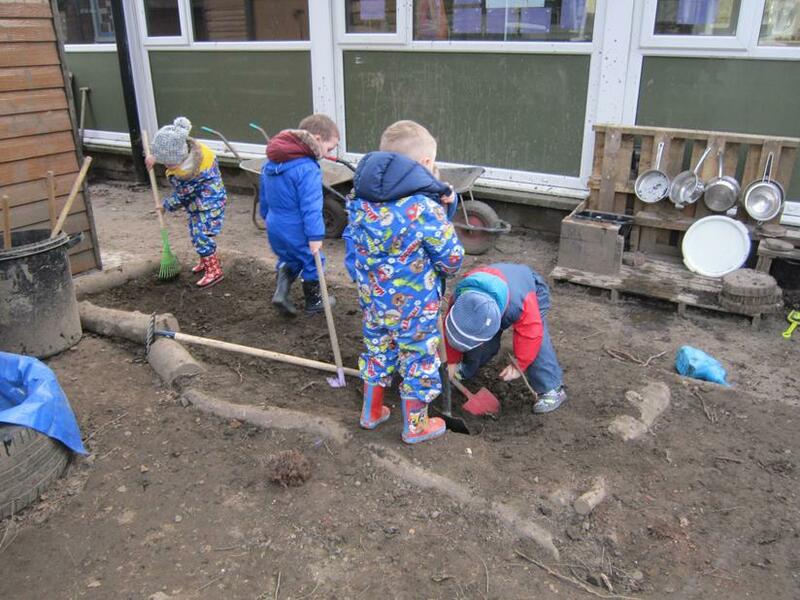 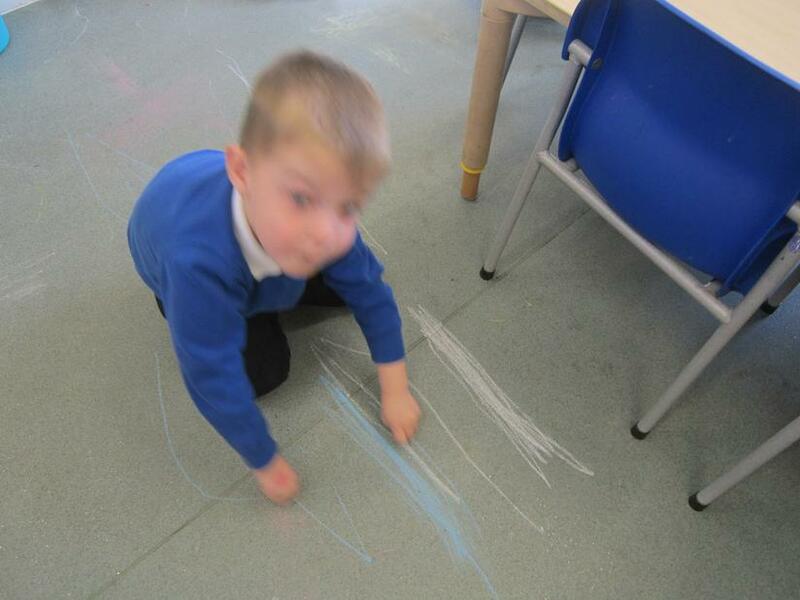 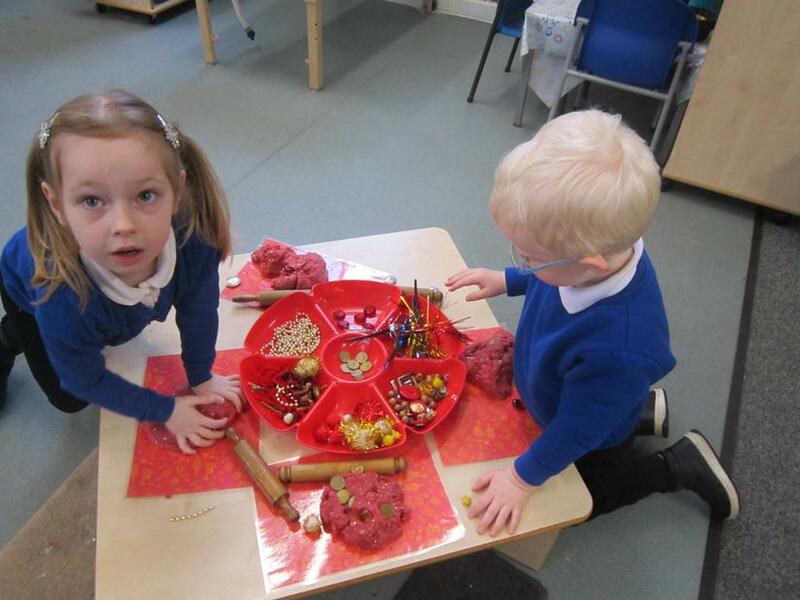 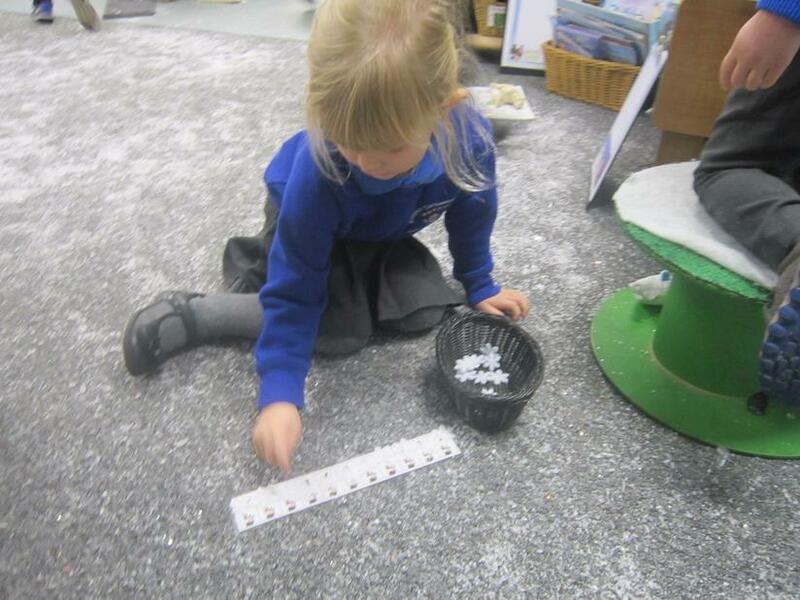 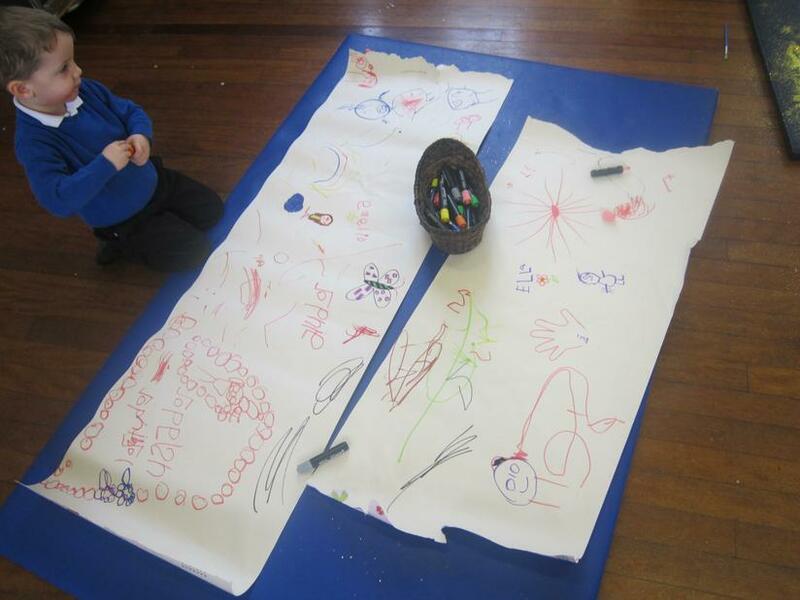 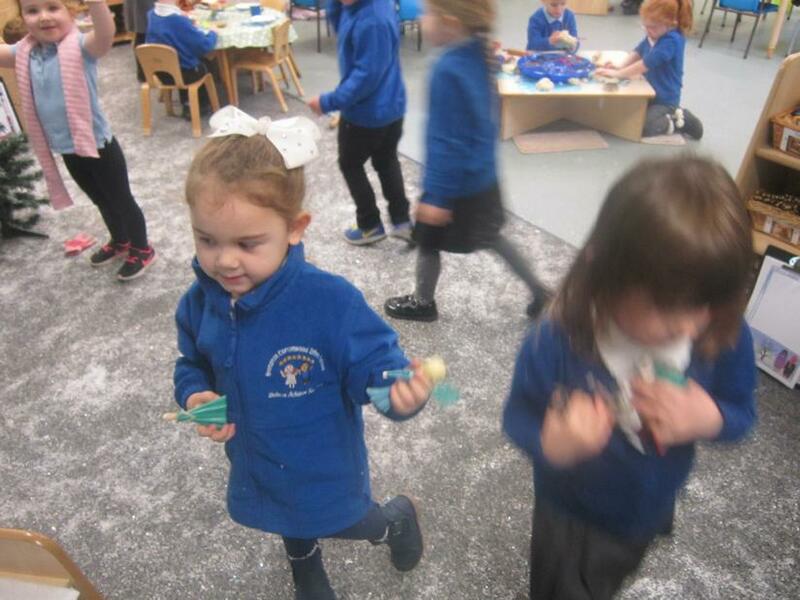 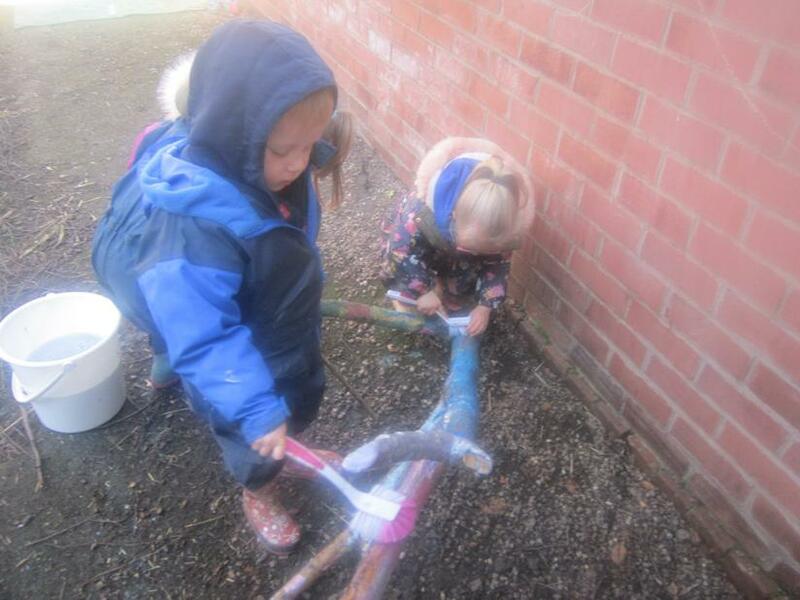 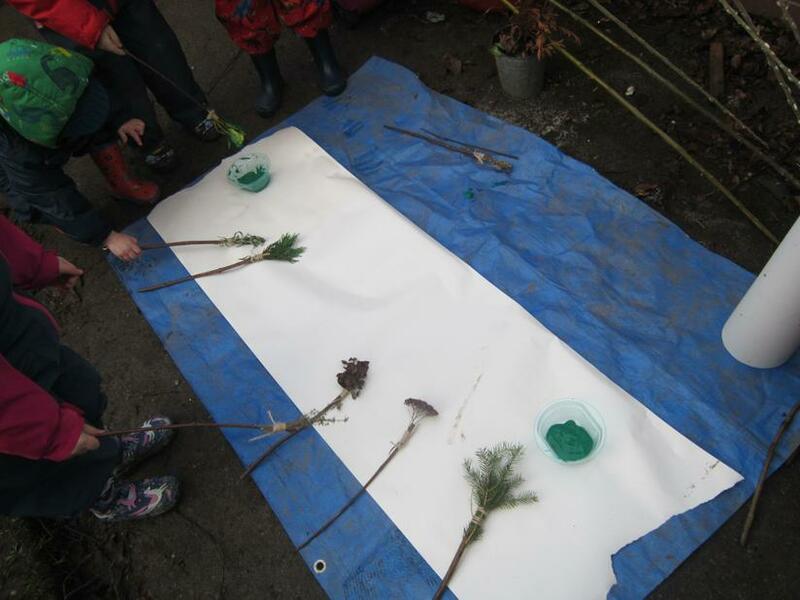 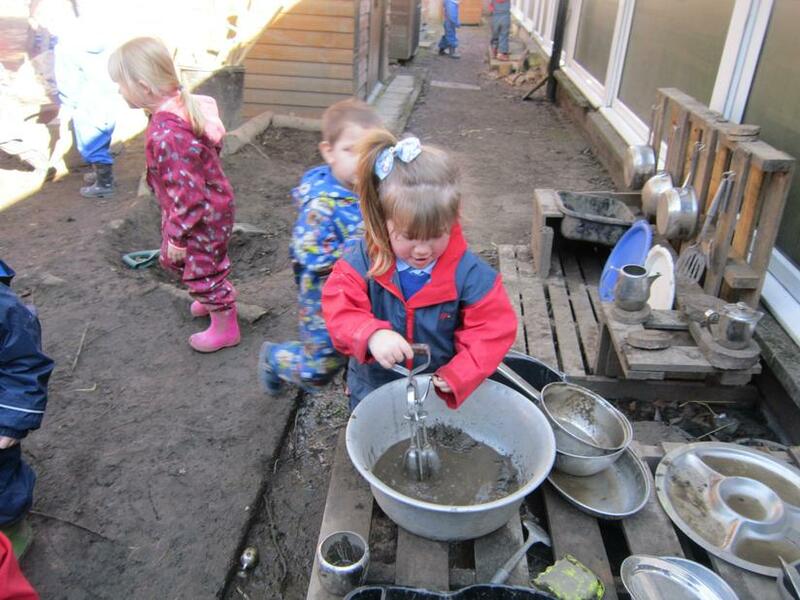 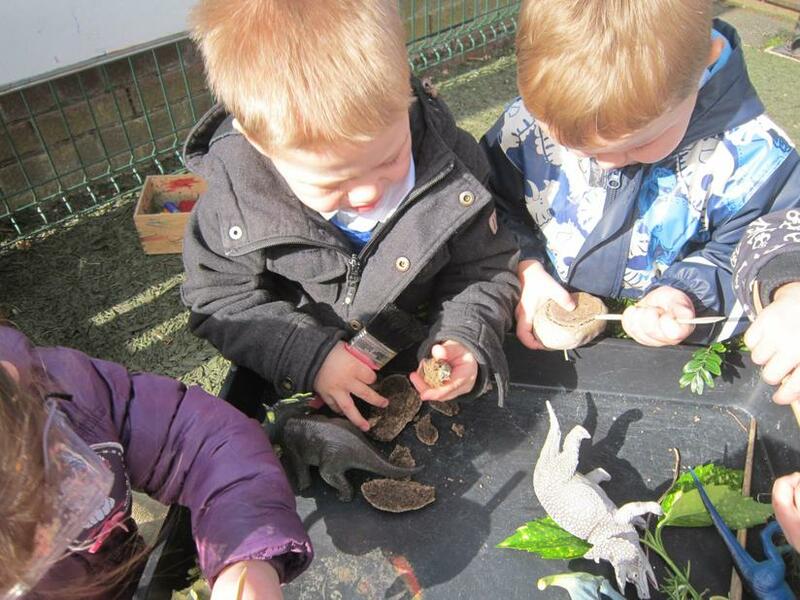 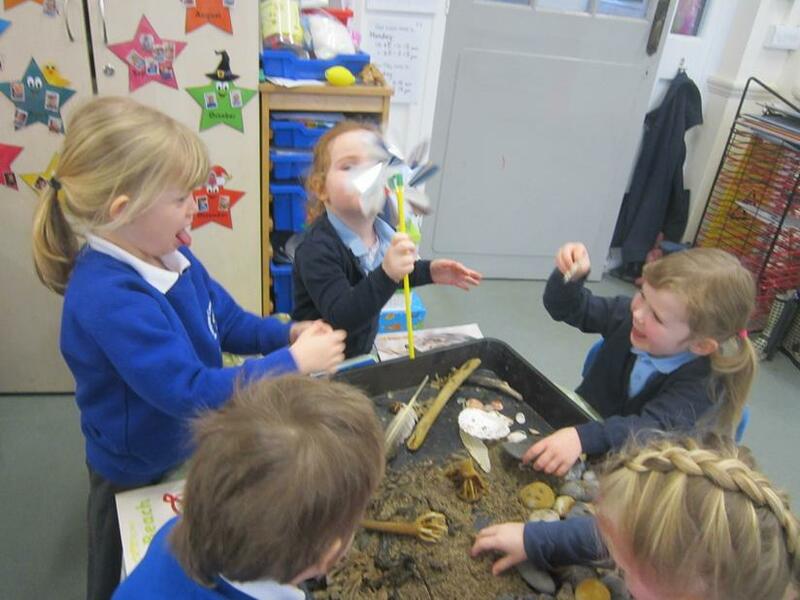 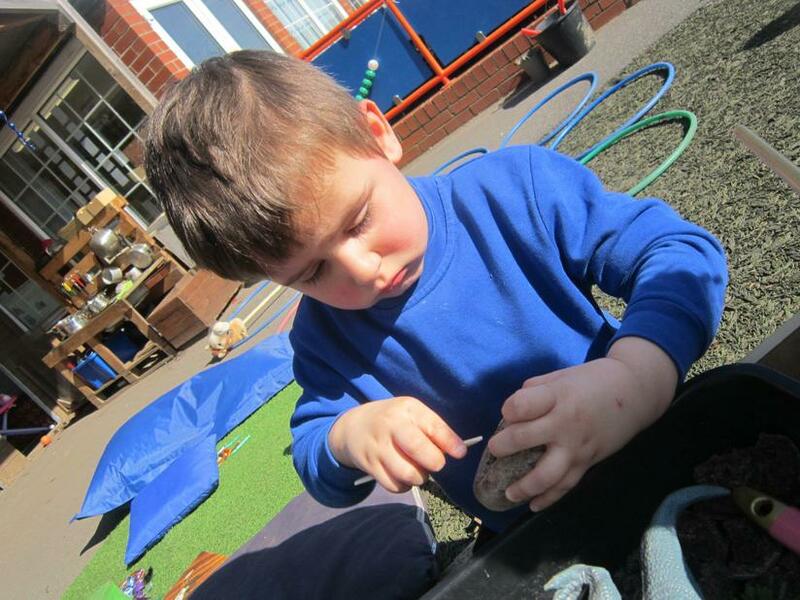 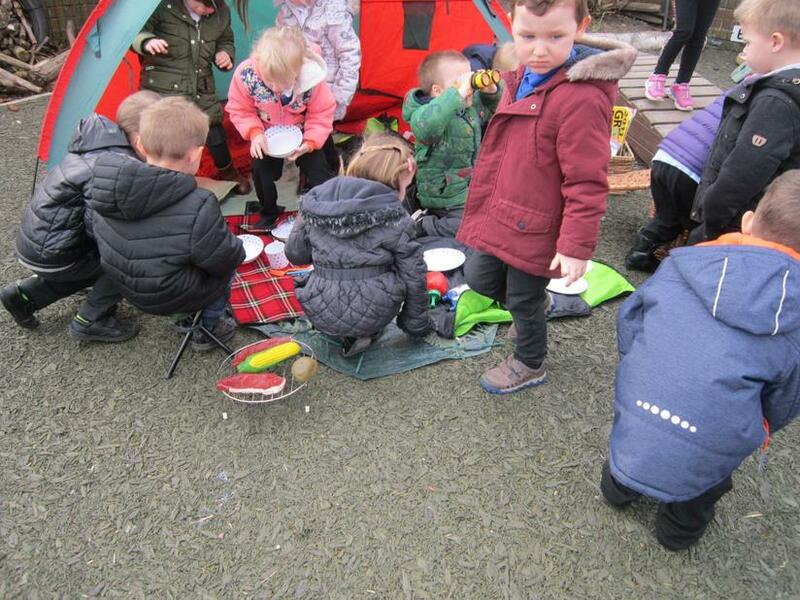 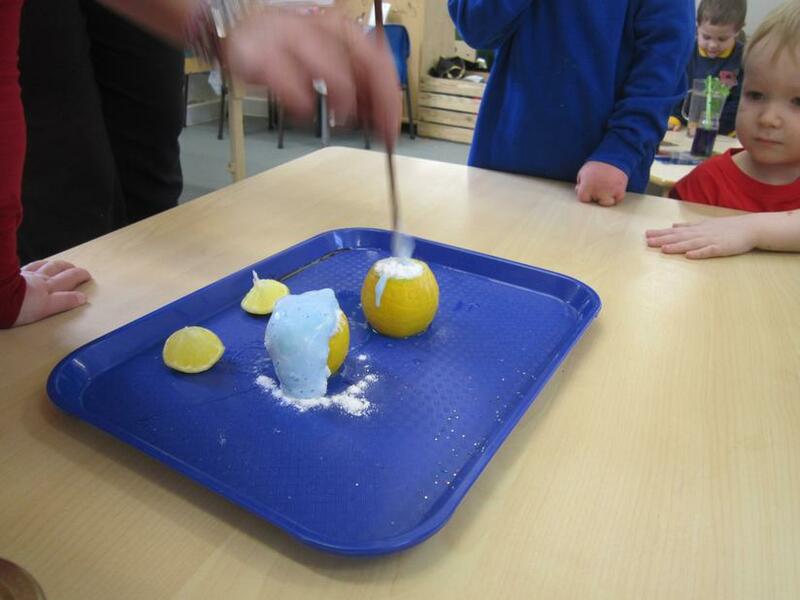 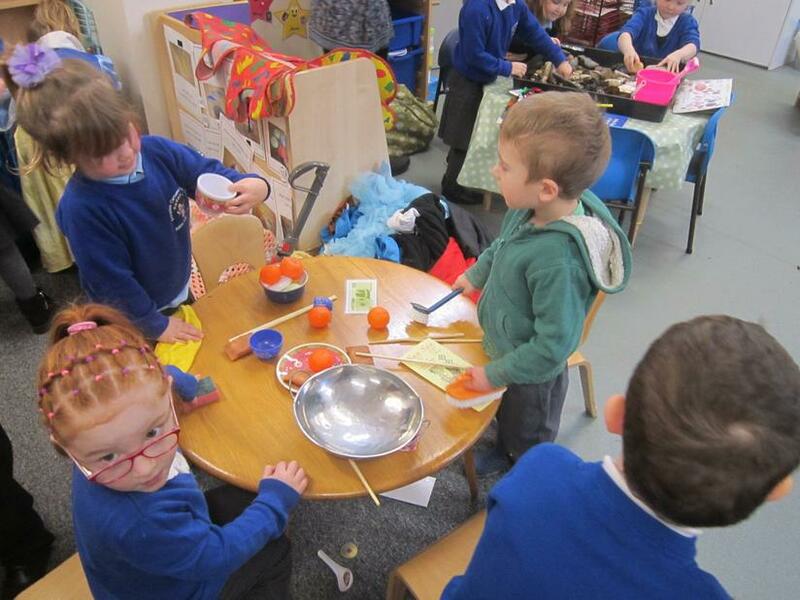 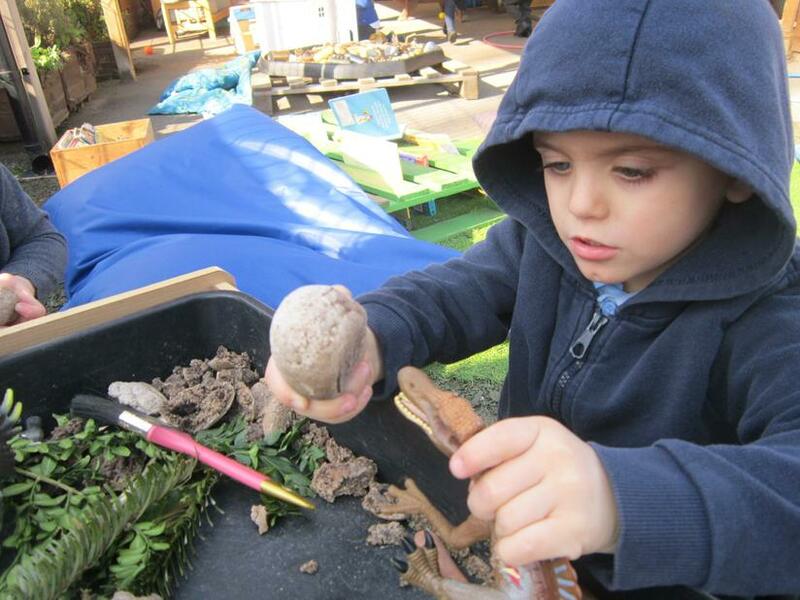 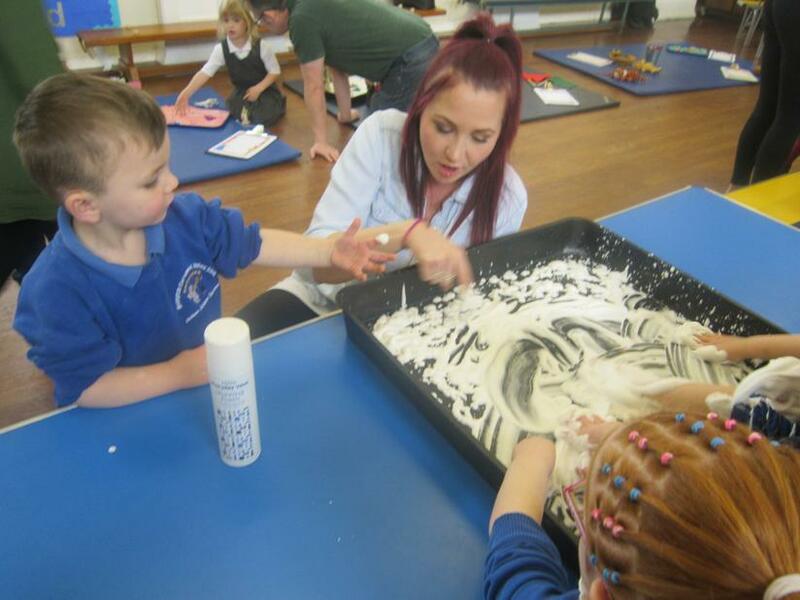 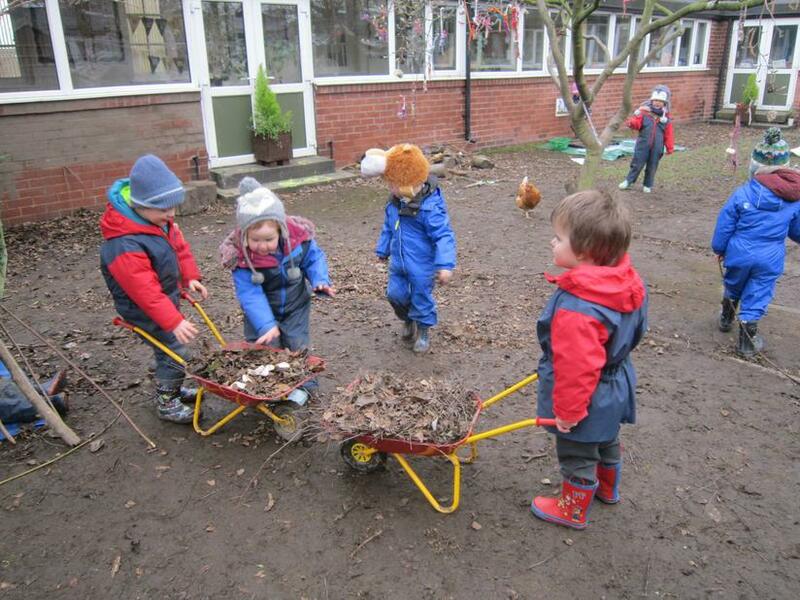 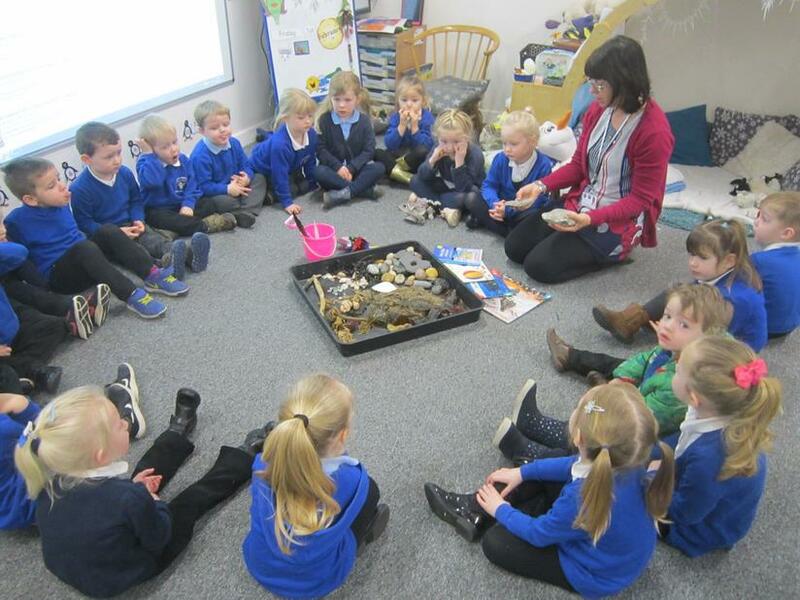 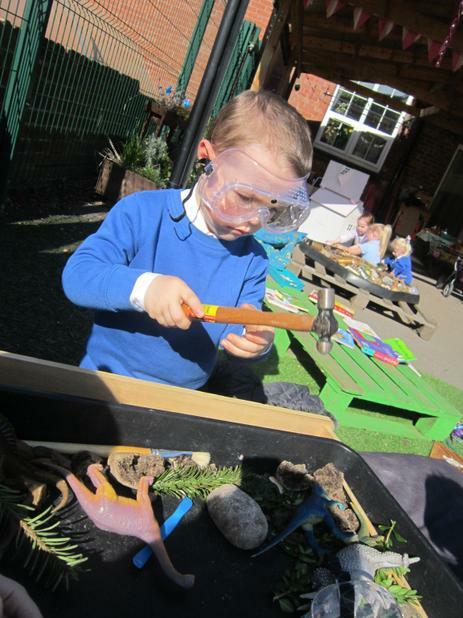 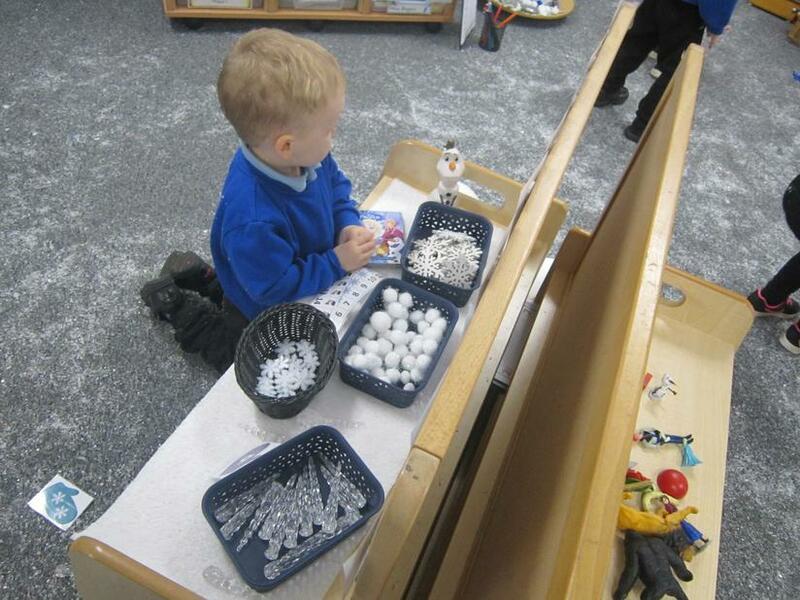 The children used different tools to help get the baby dinosaurs out. 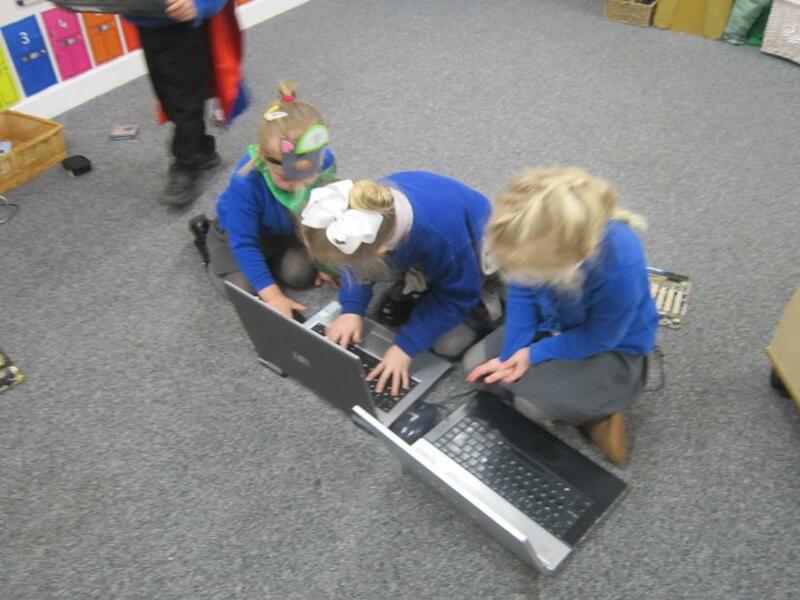 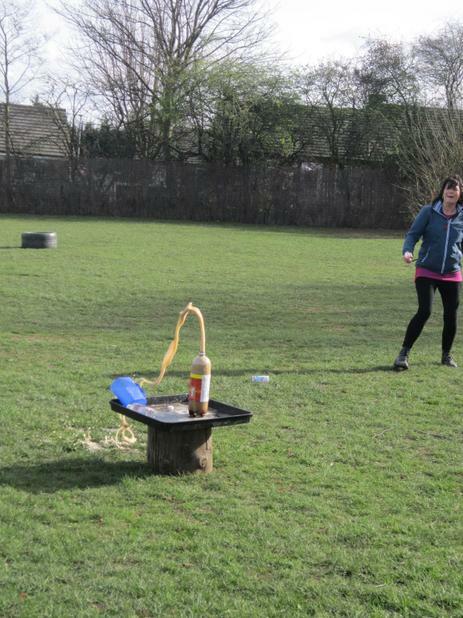 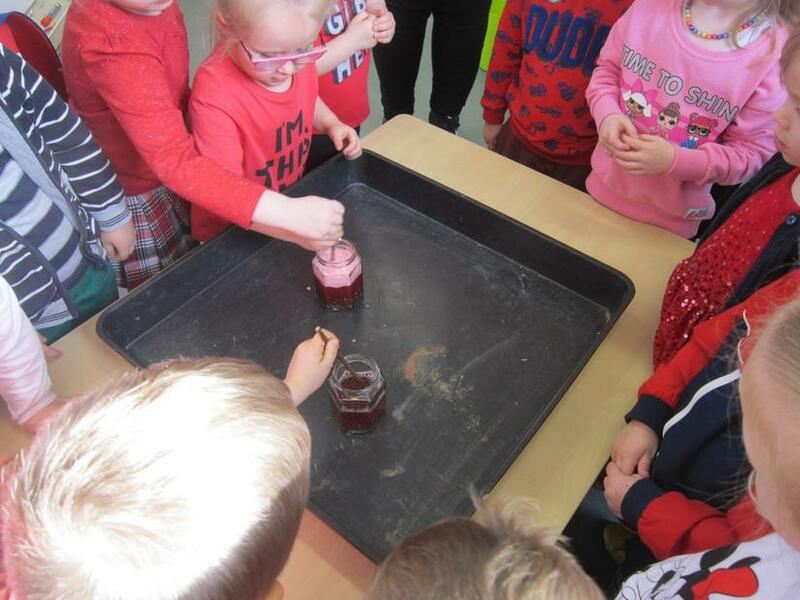 Our fantastic science day. 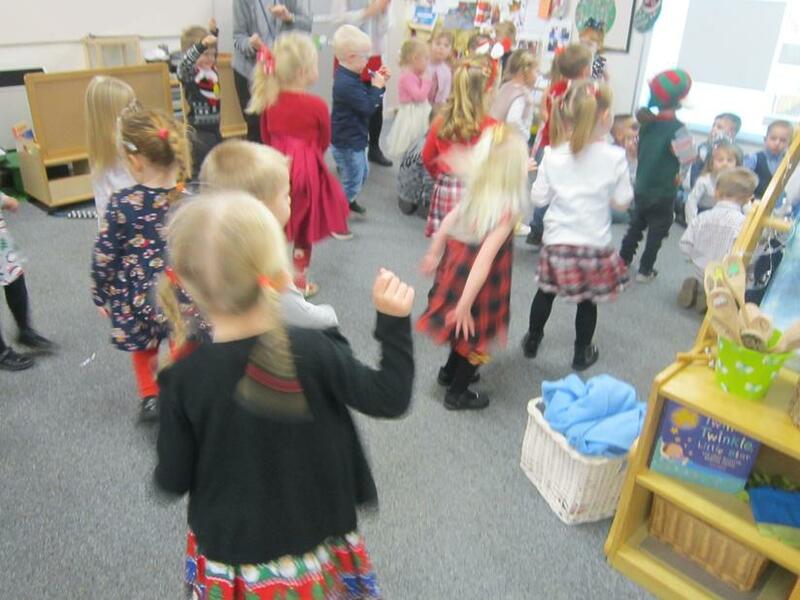 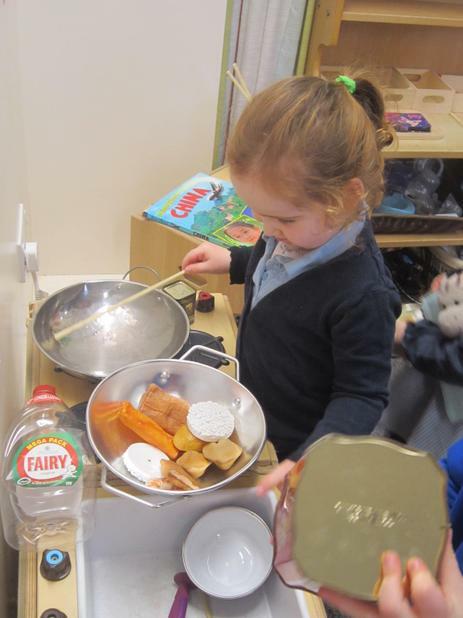 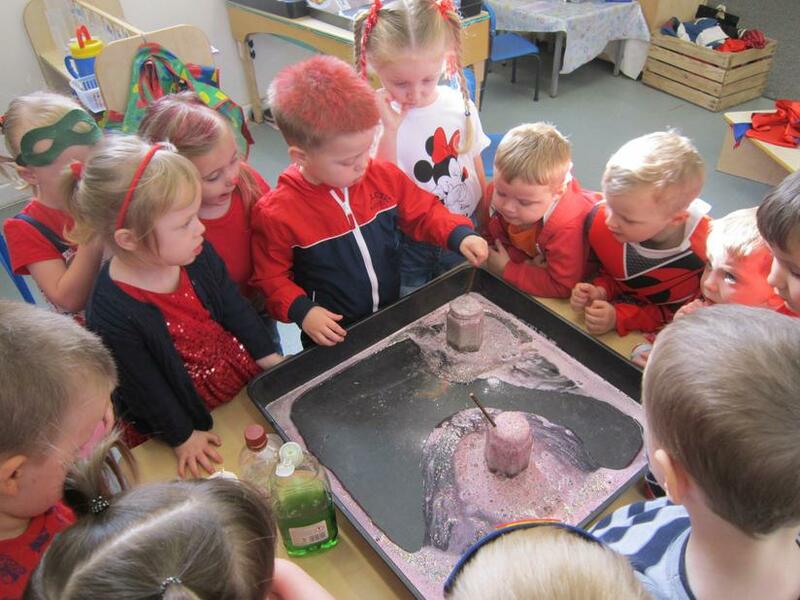 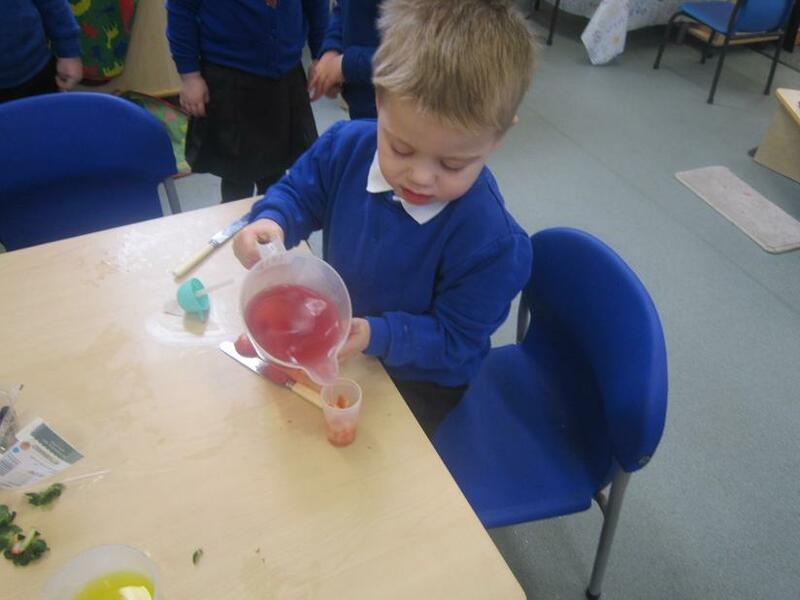 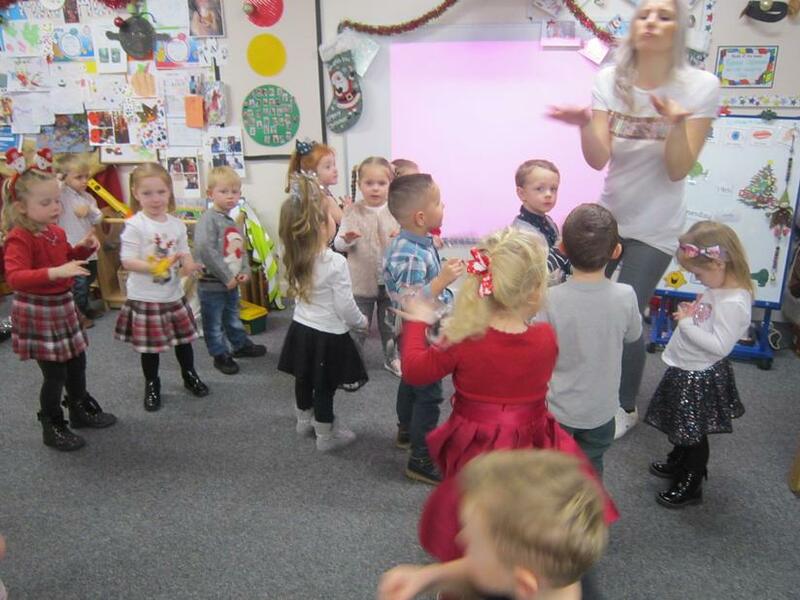 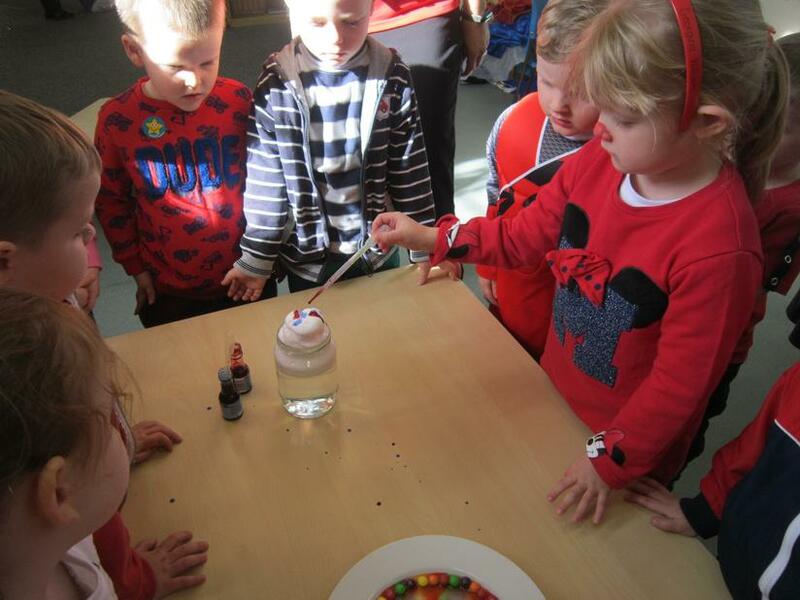 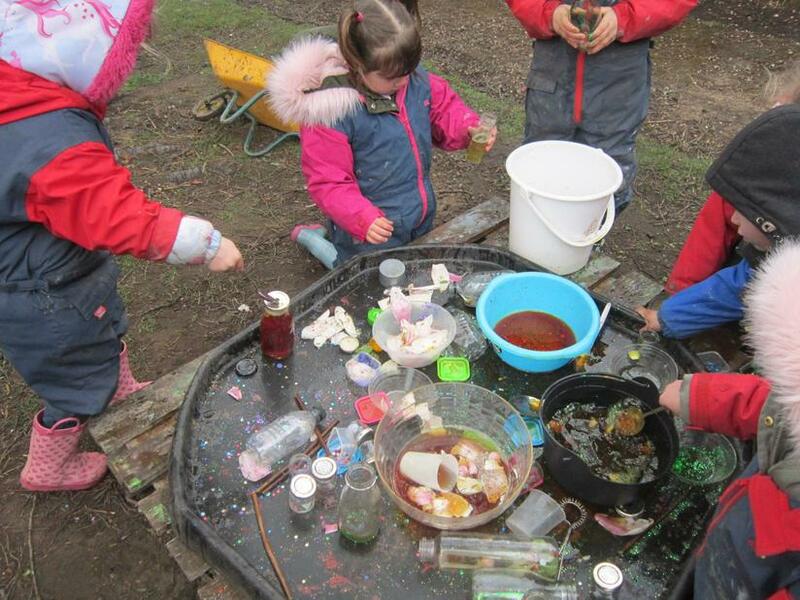 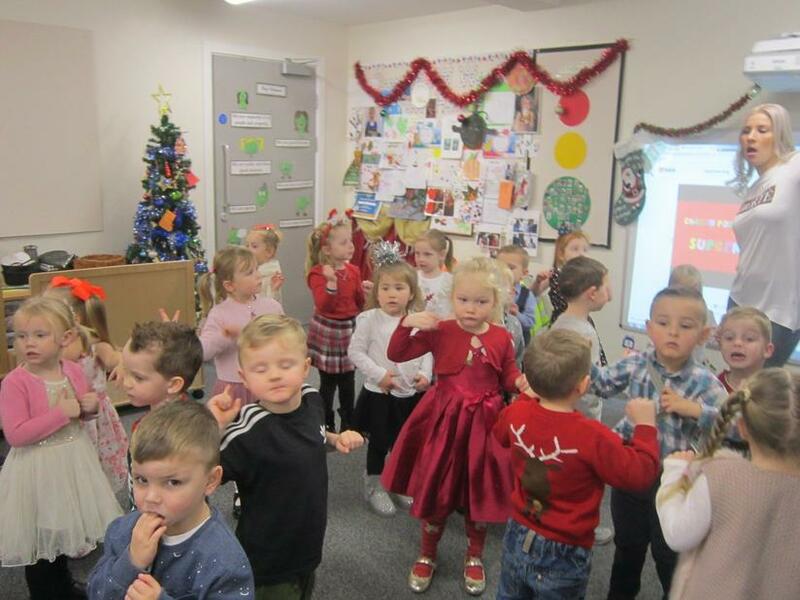 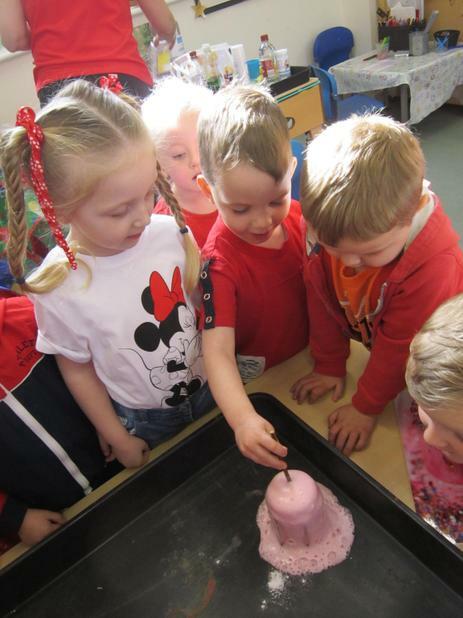 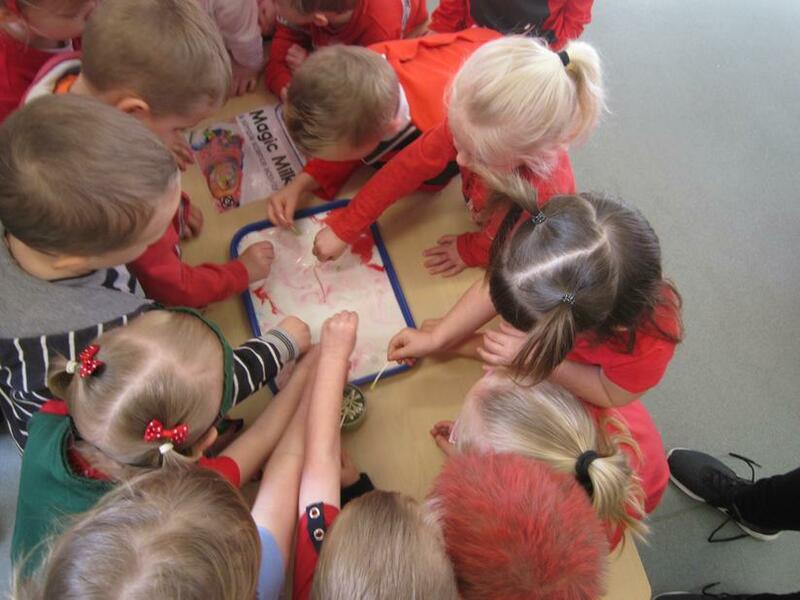 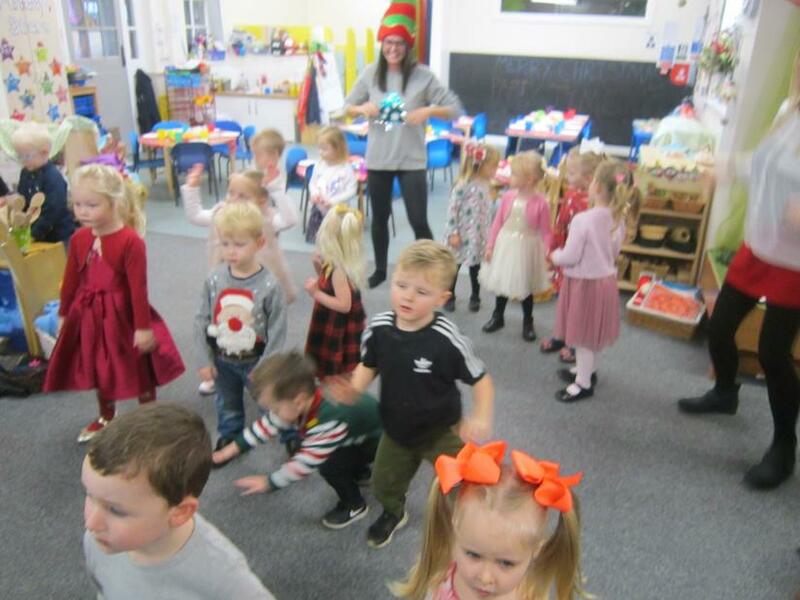 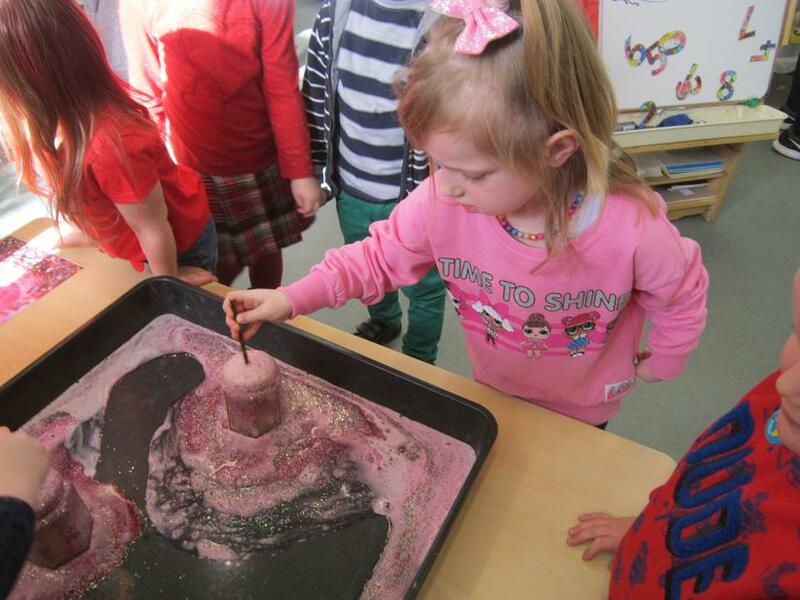 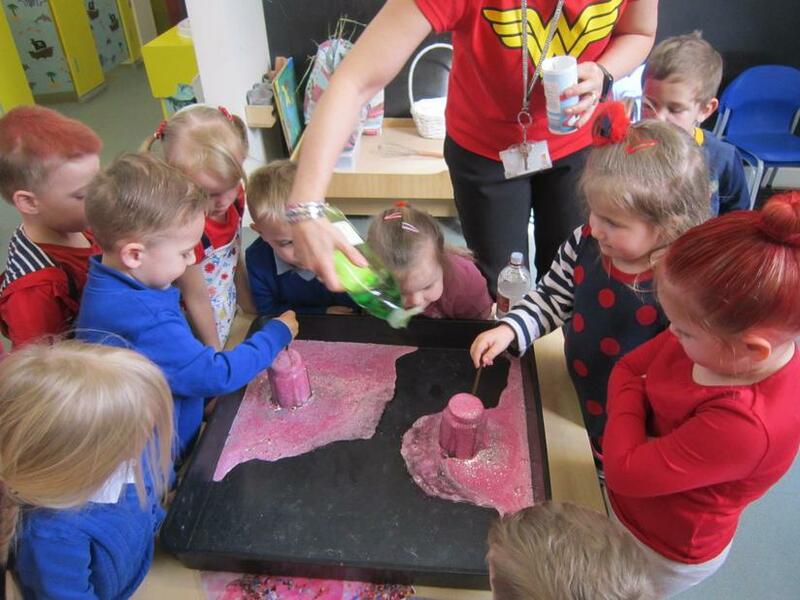 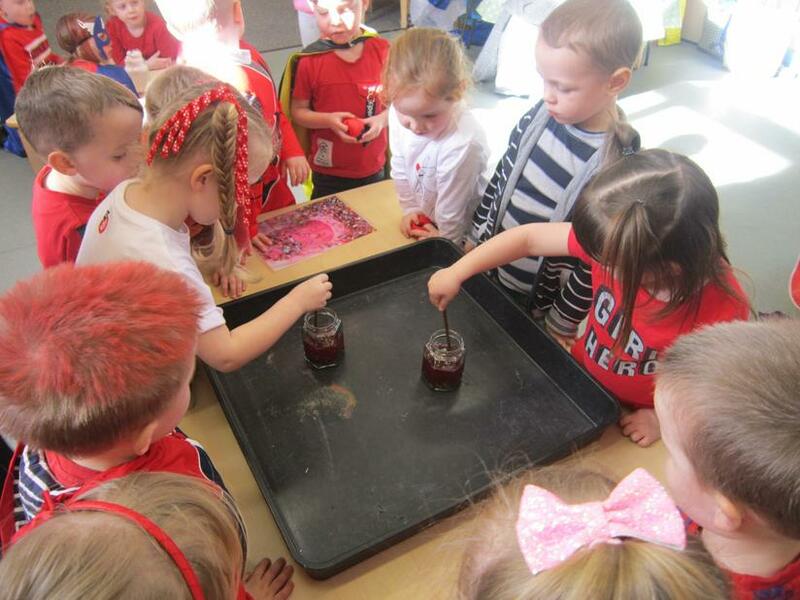 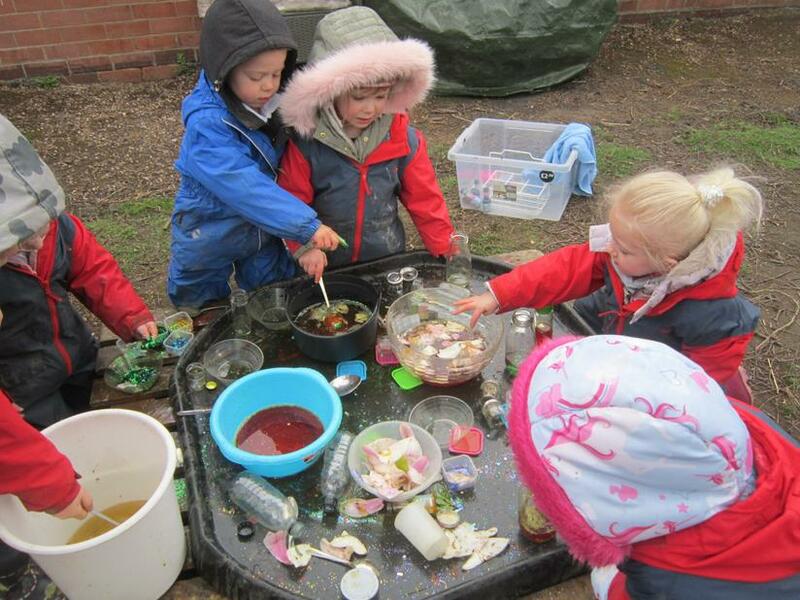 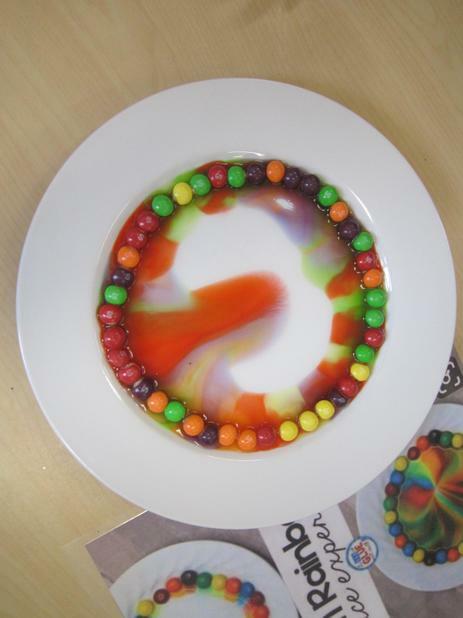 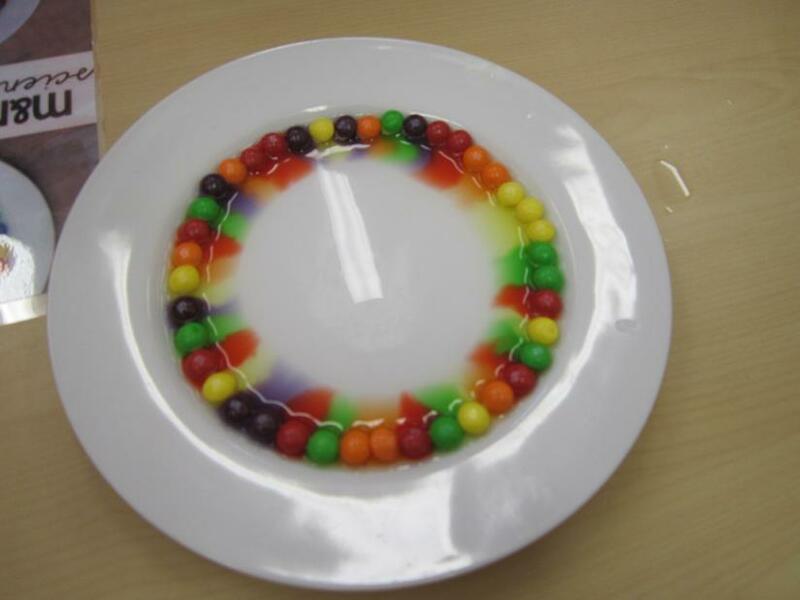 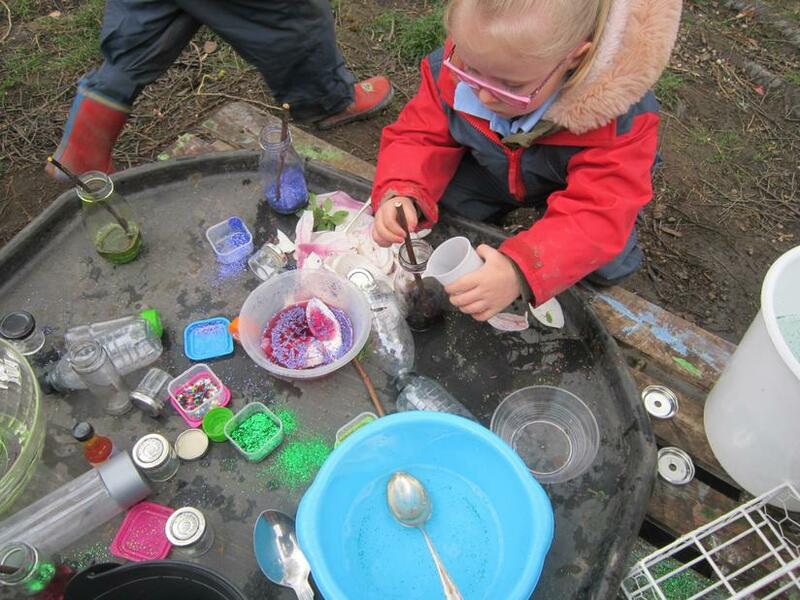 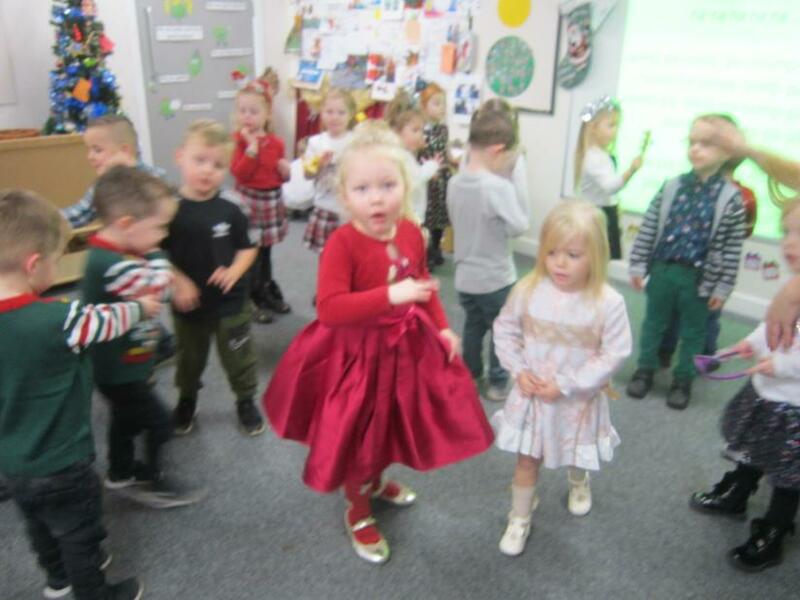 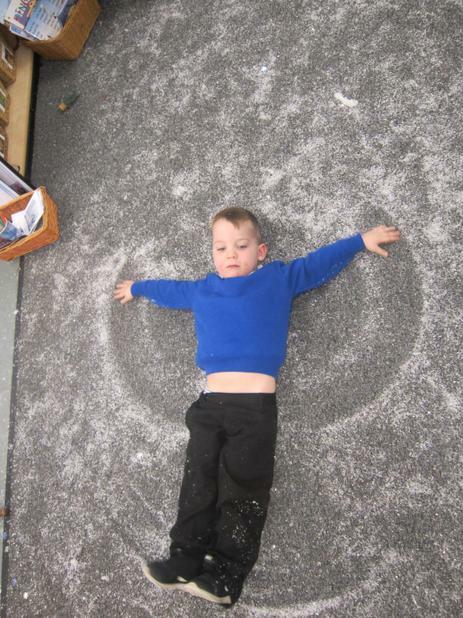 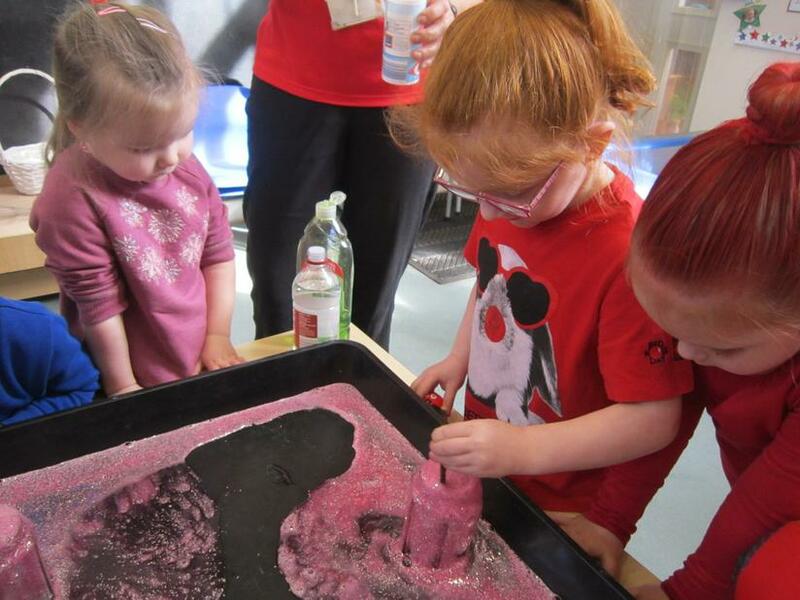 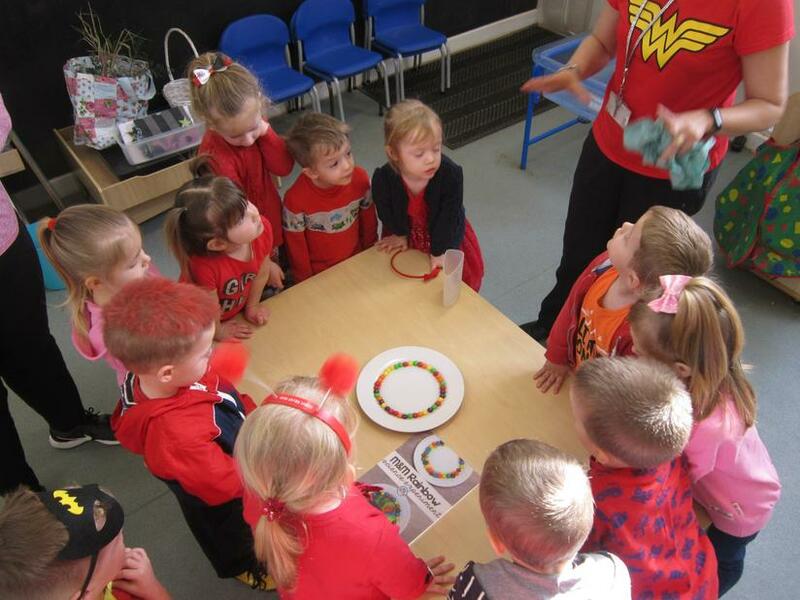 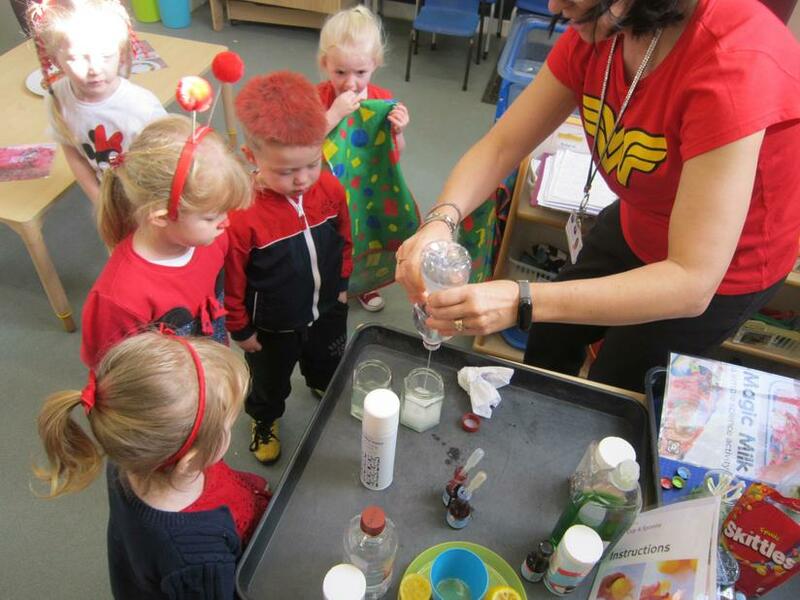 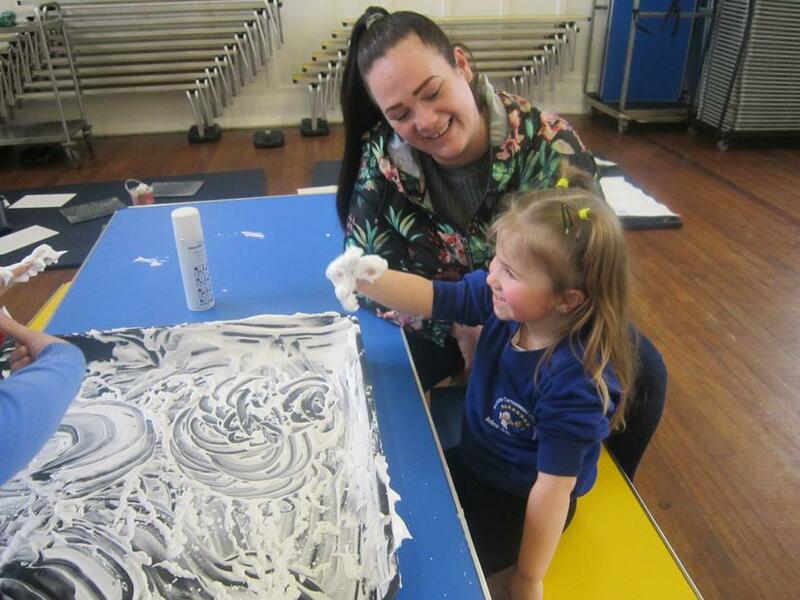 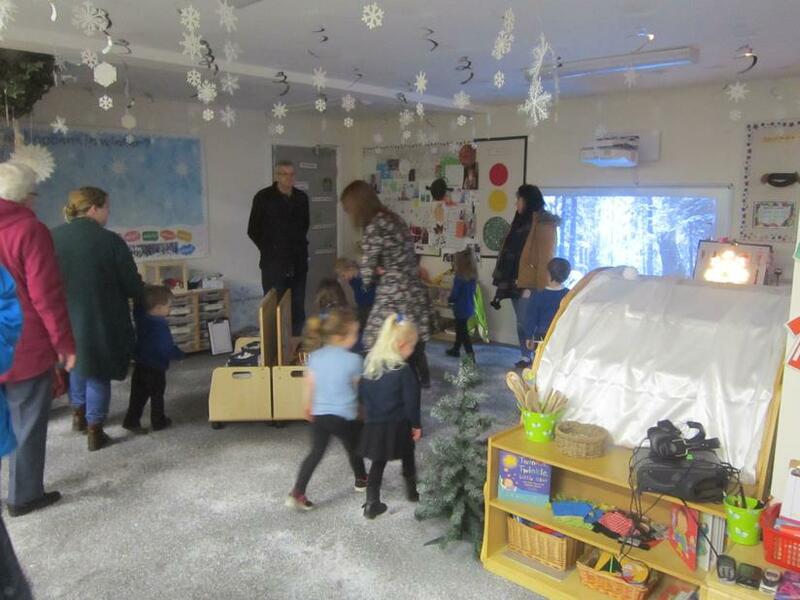 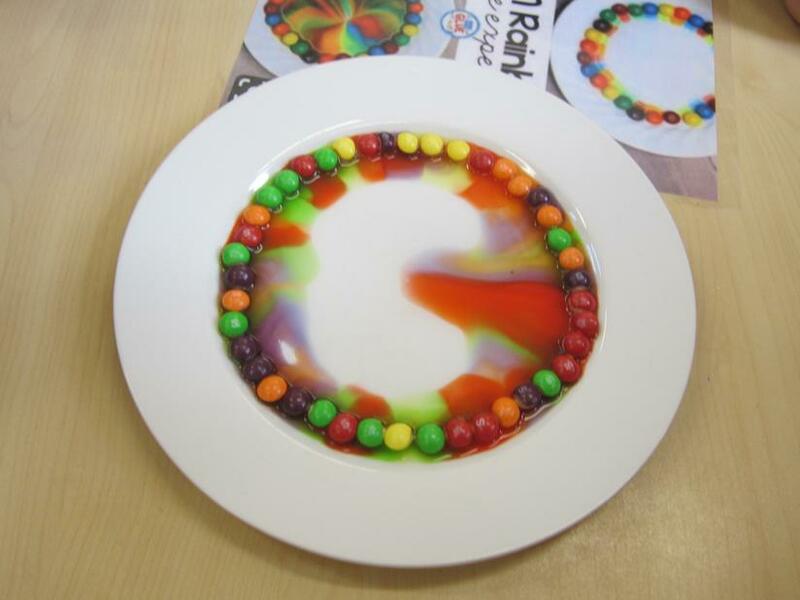 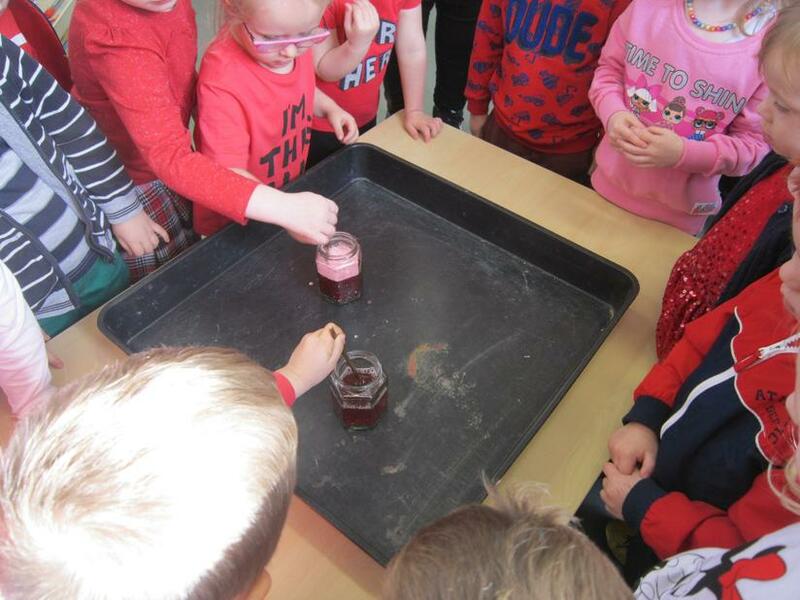 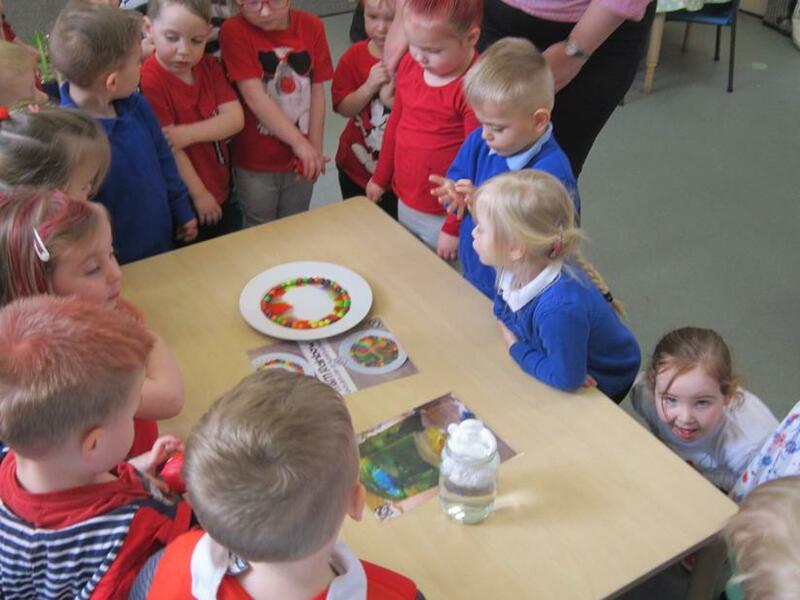 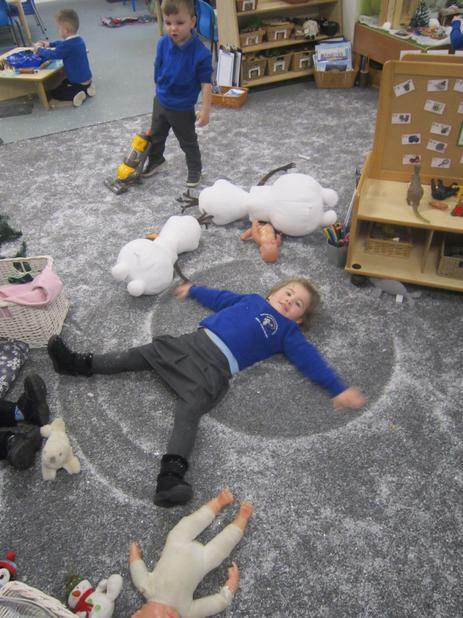 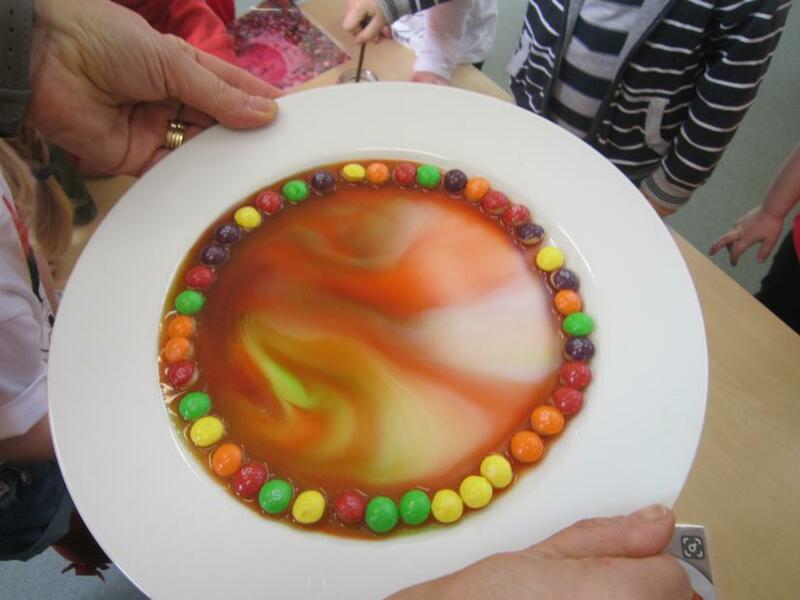 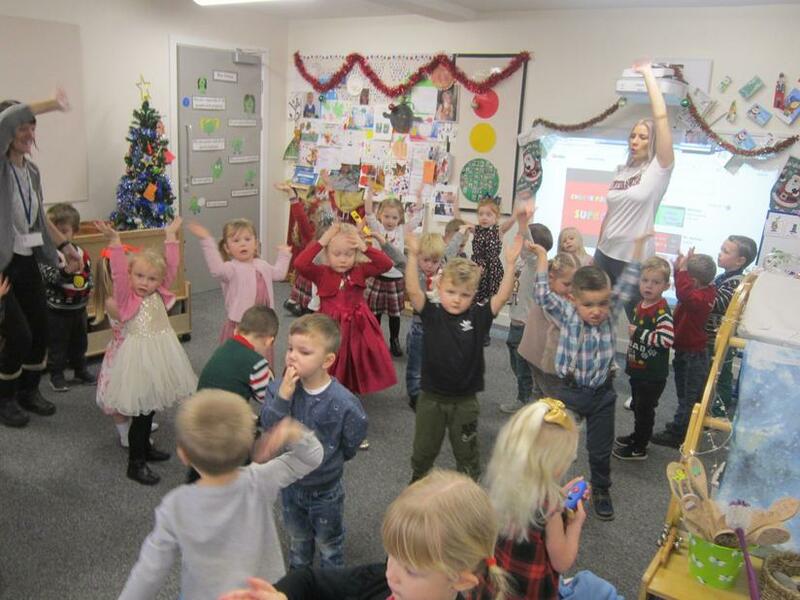 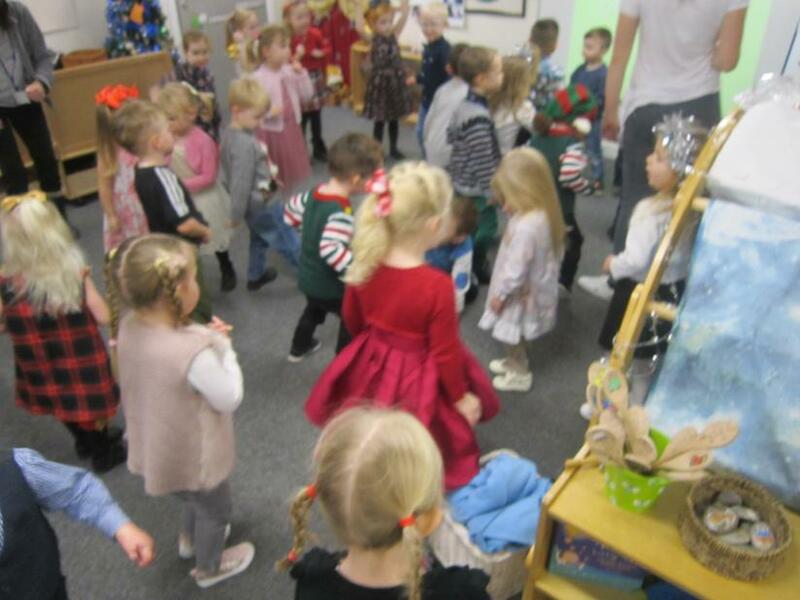 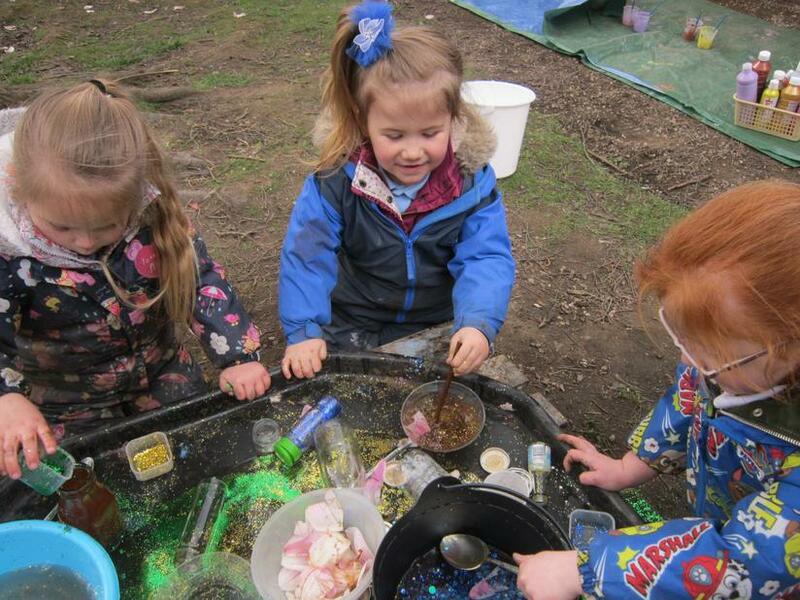 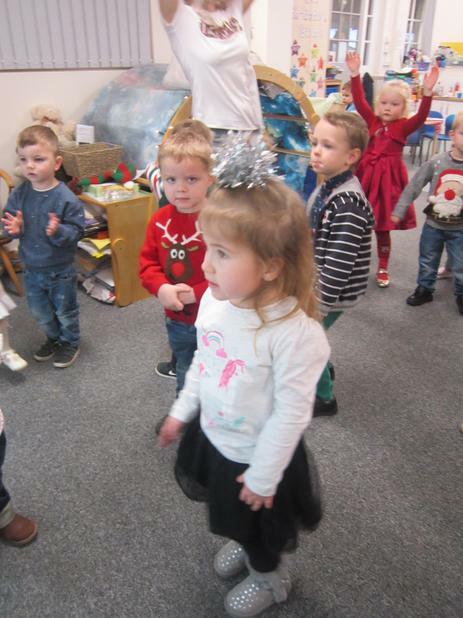 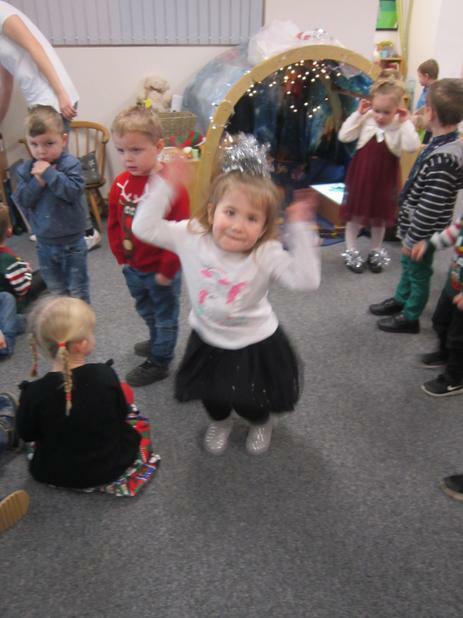 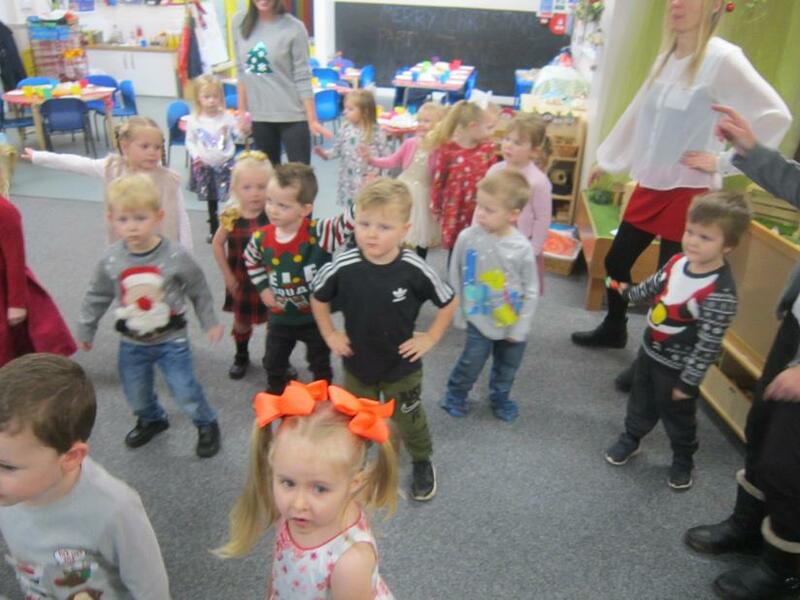 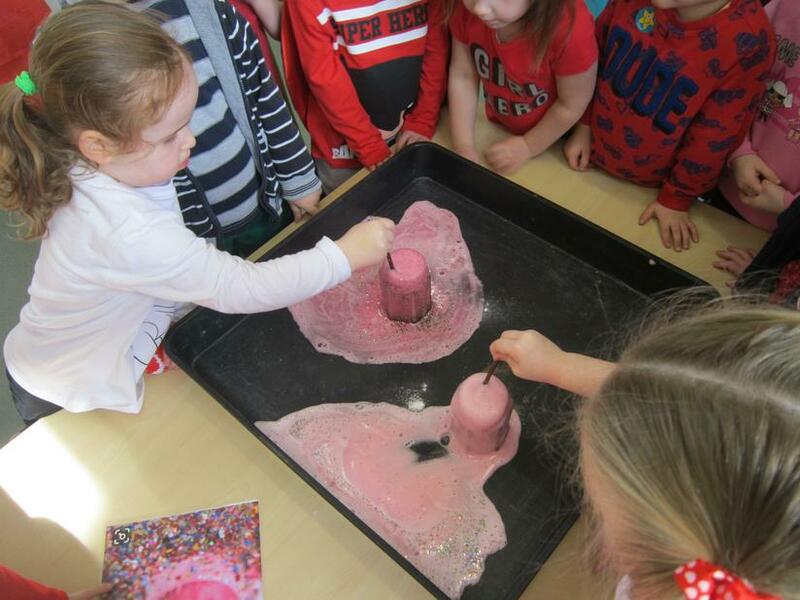 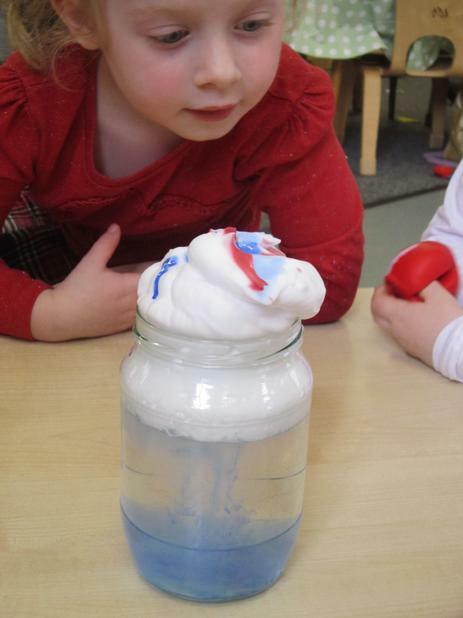 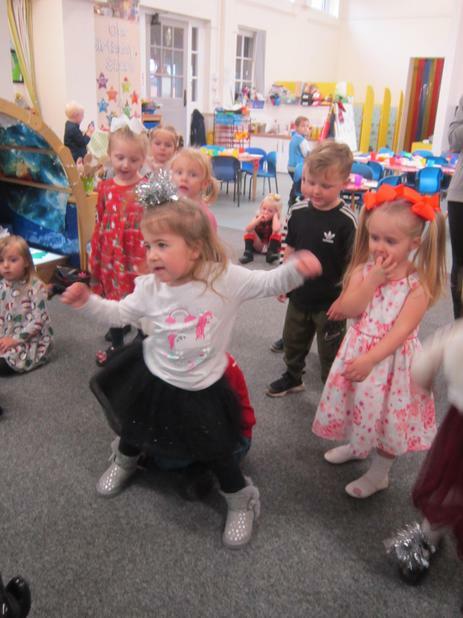 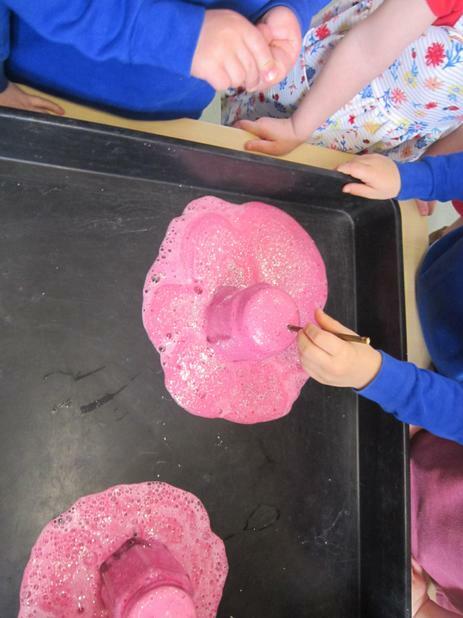 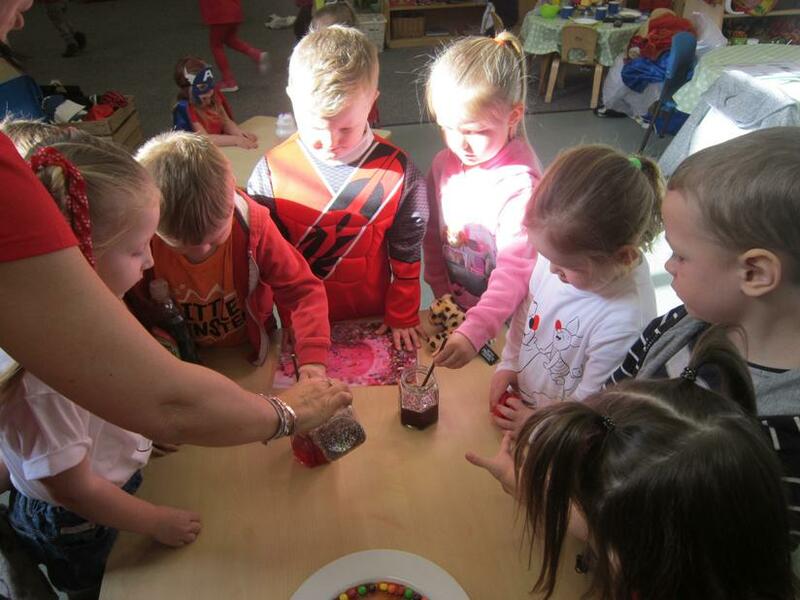 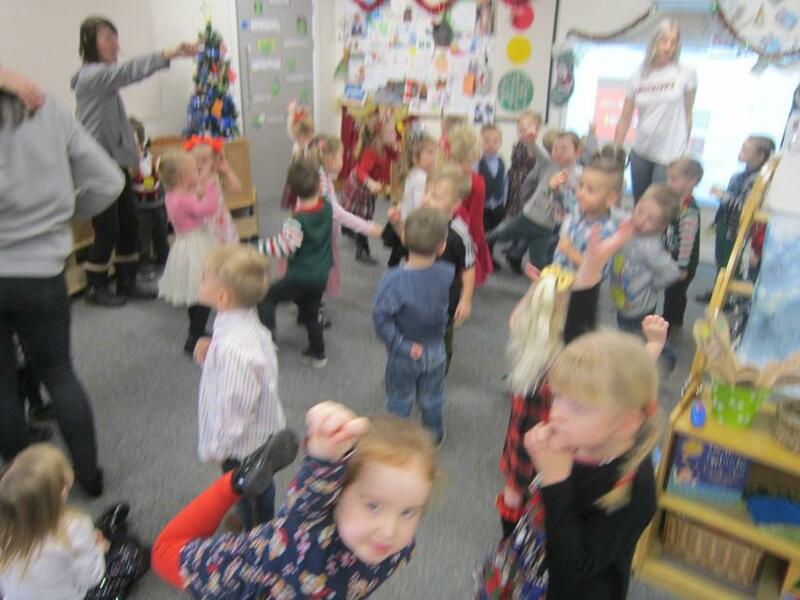 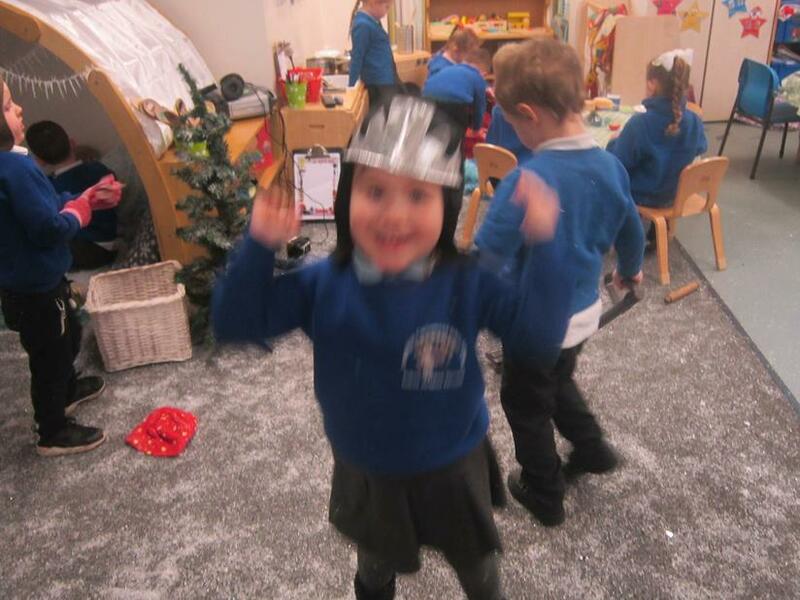 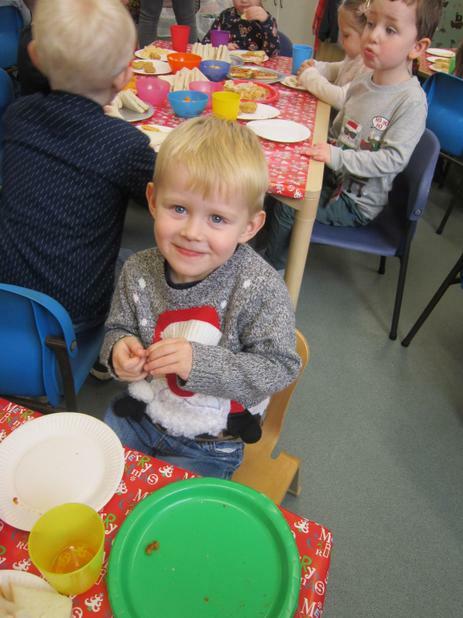 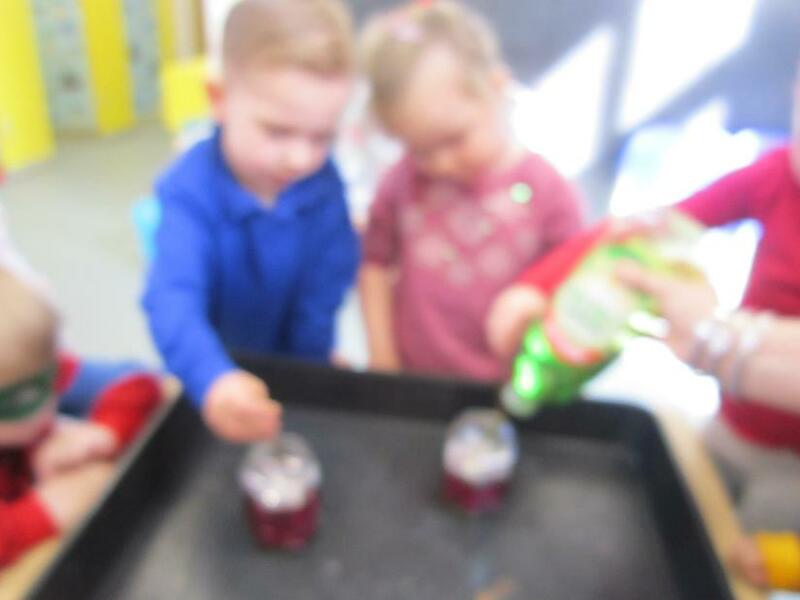 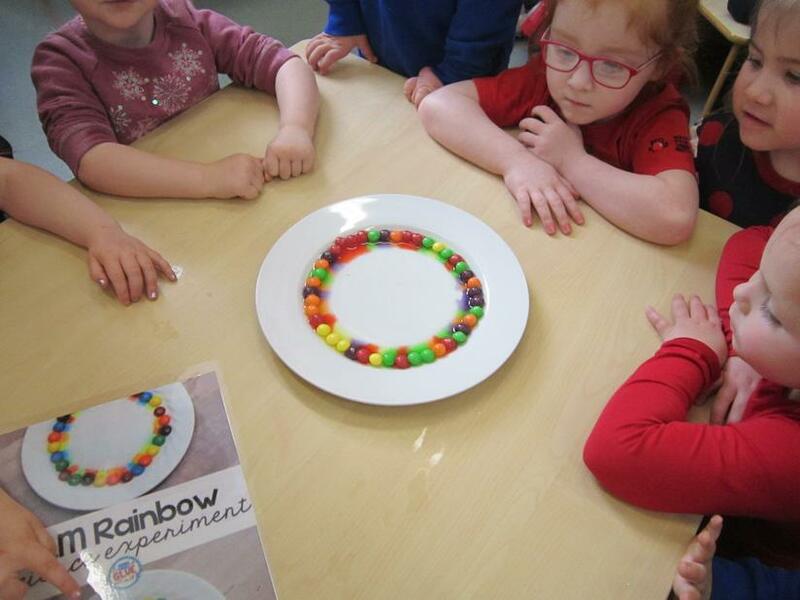 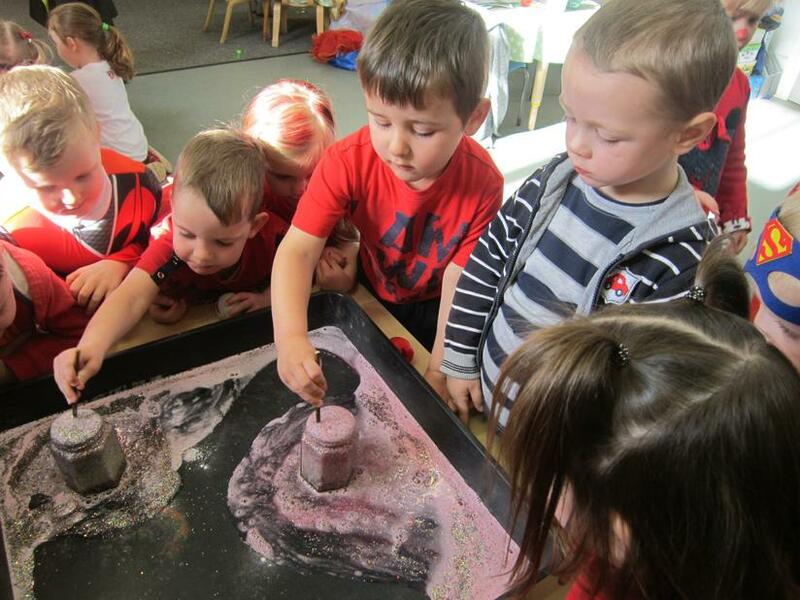 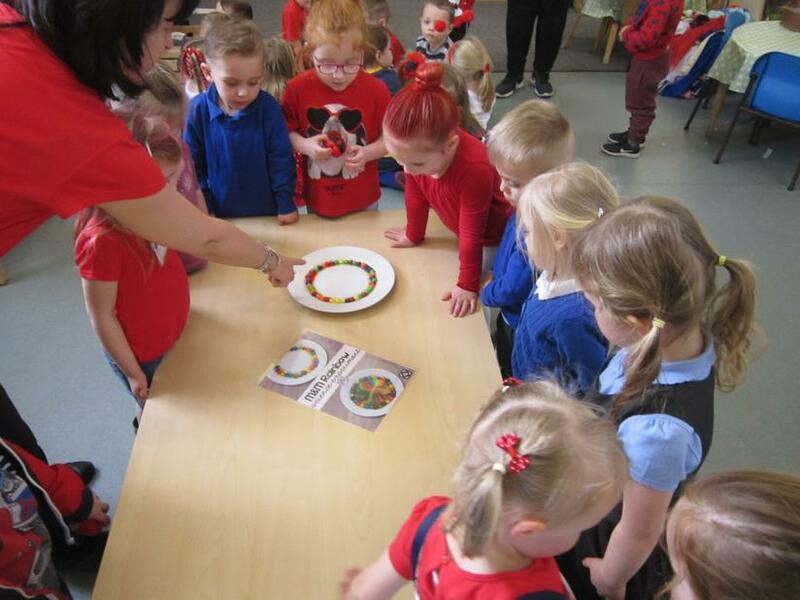 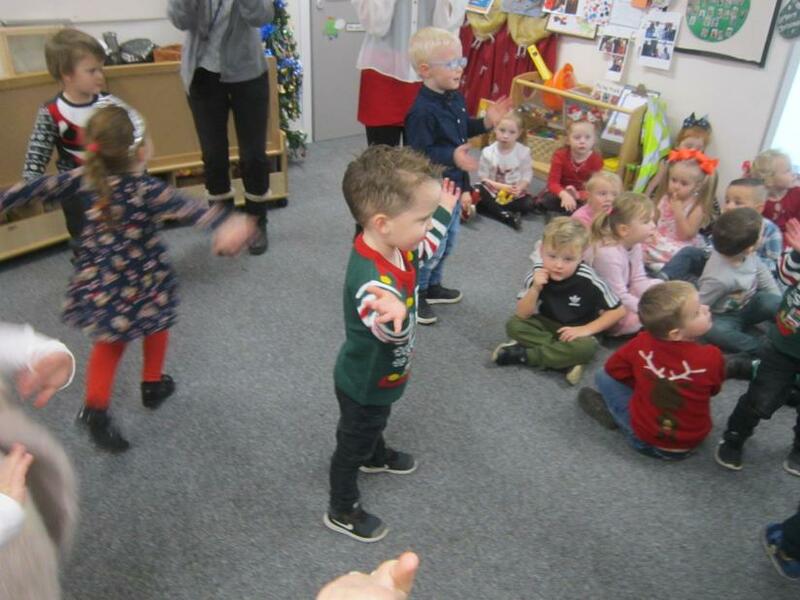 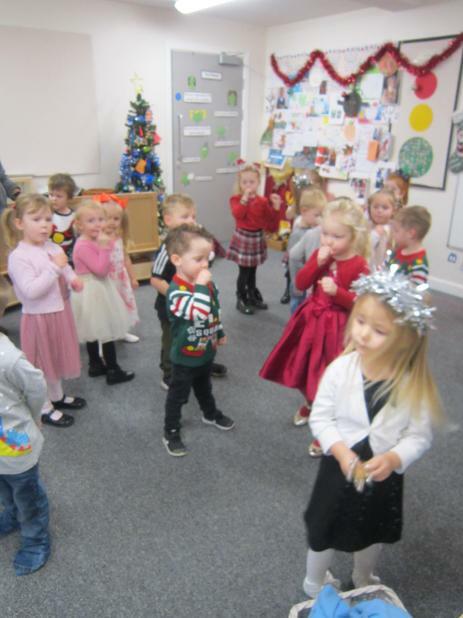 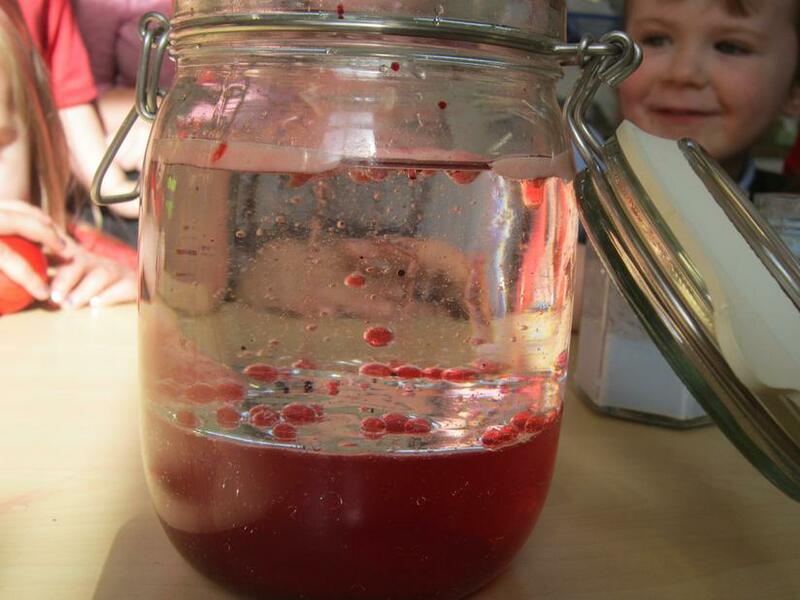 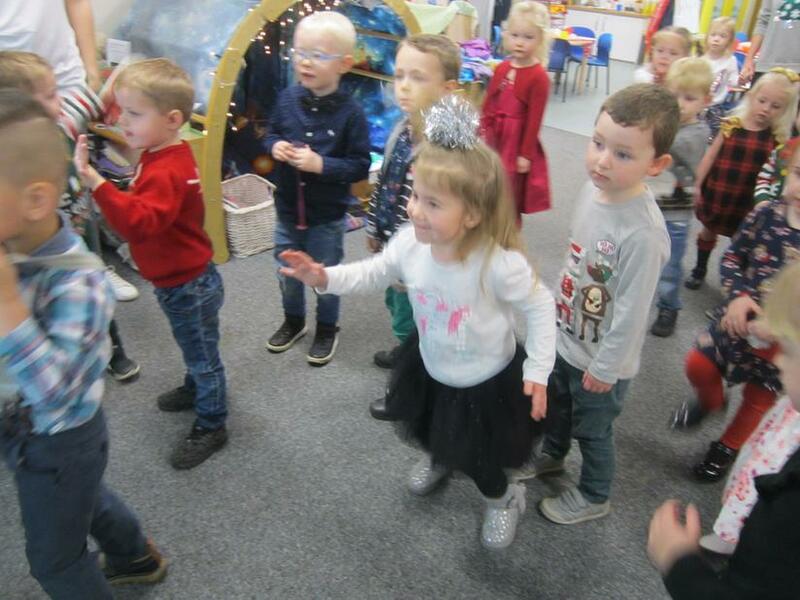 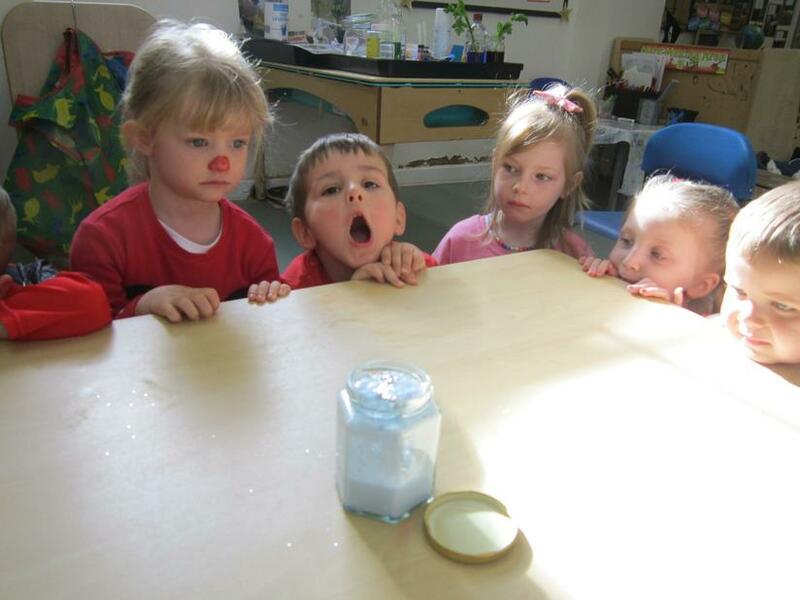 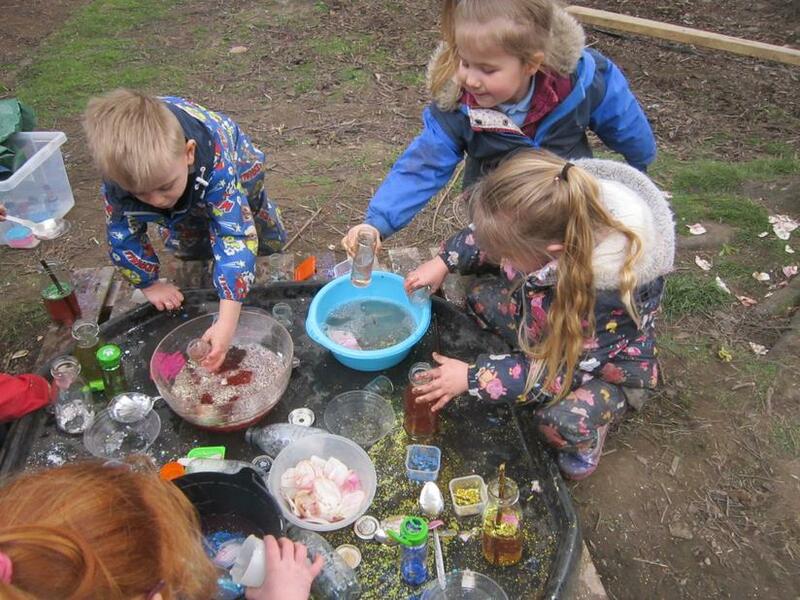 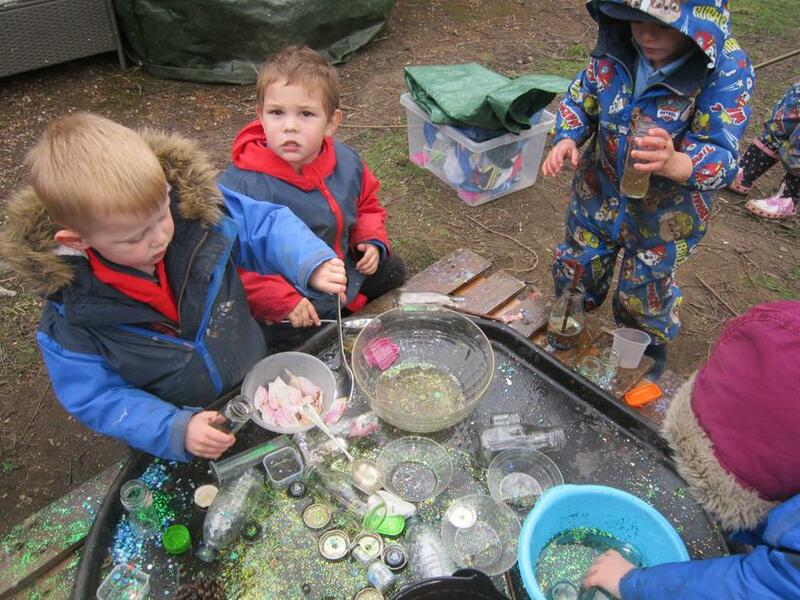 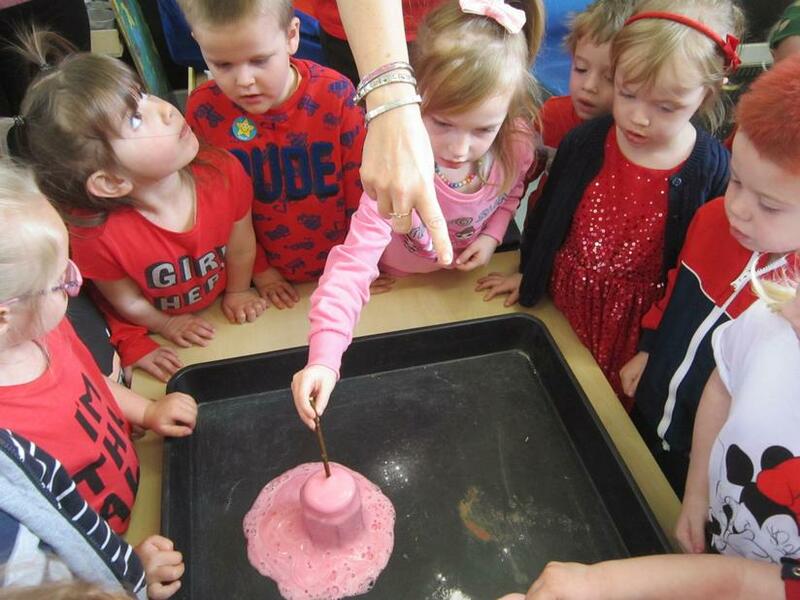 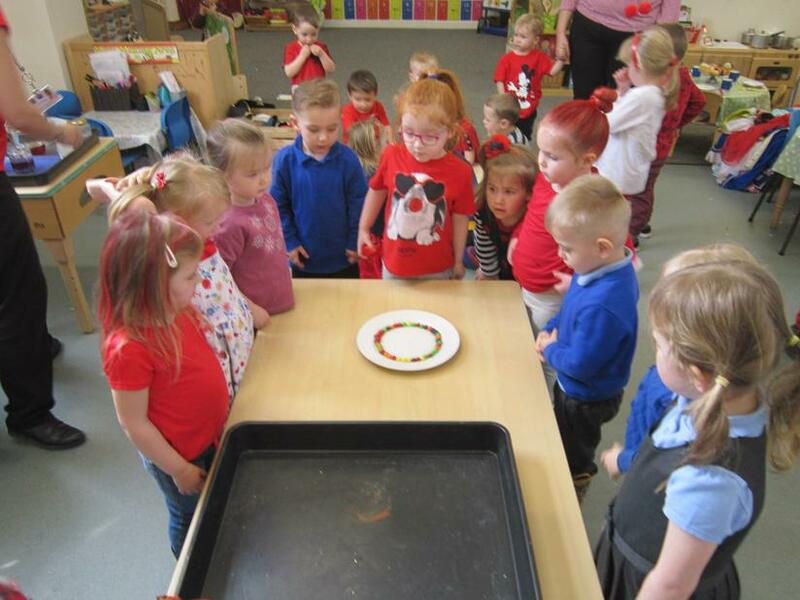 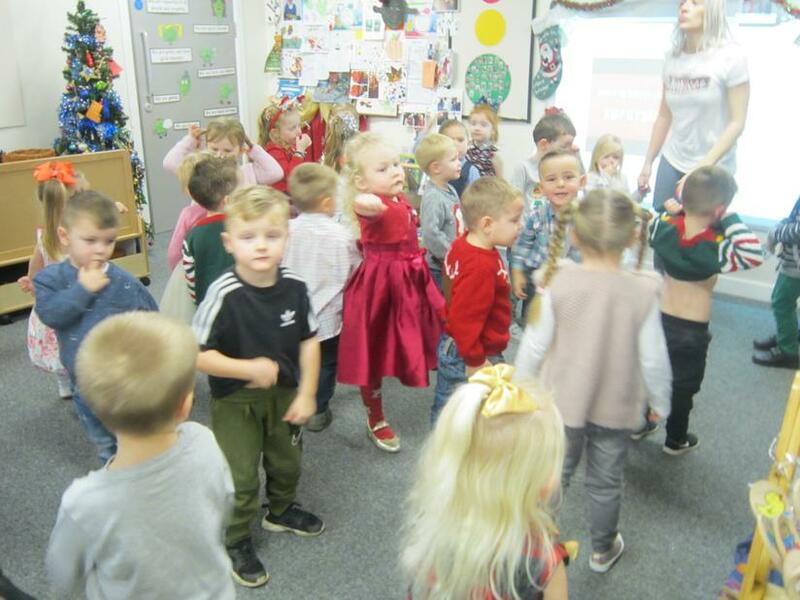 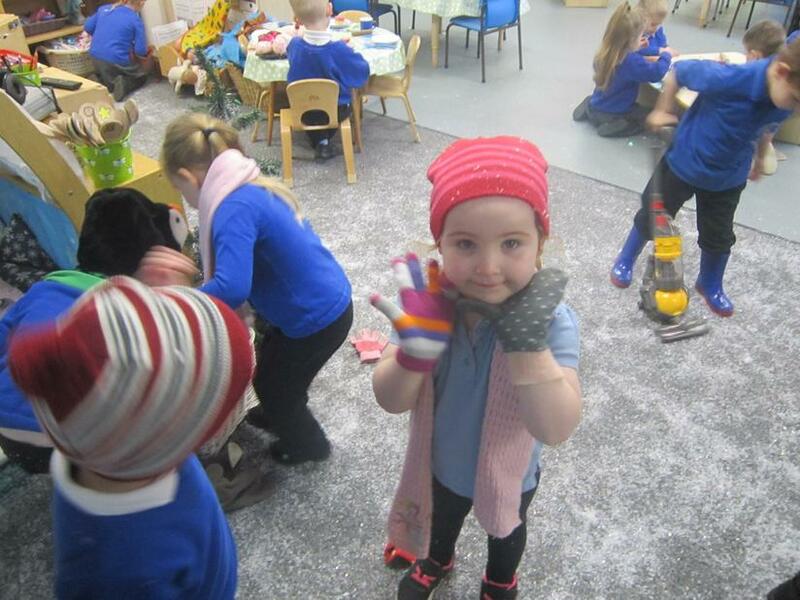 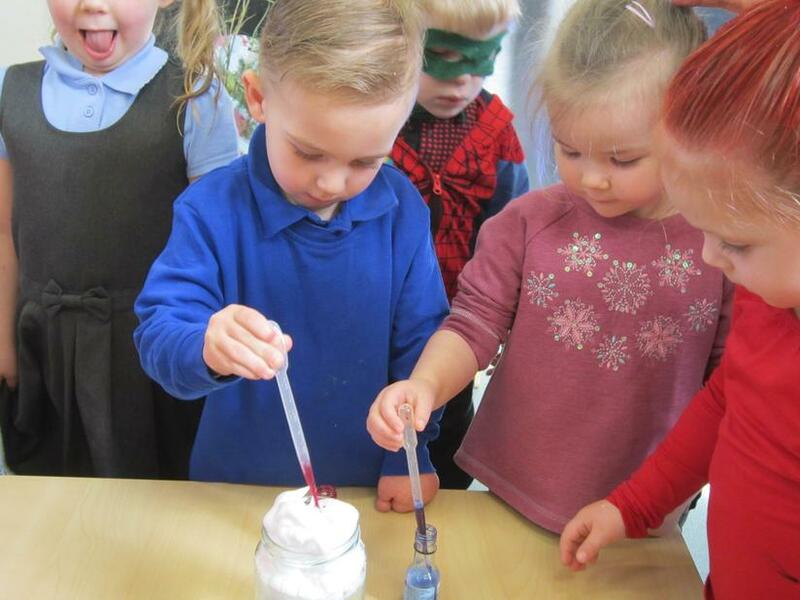 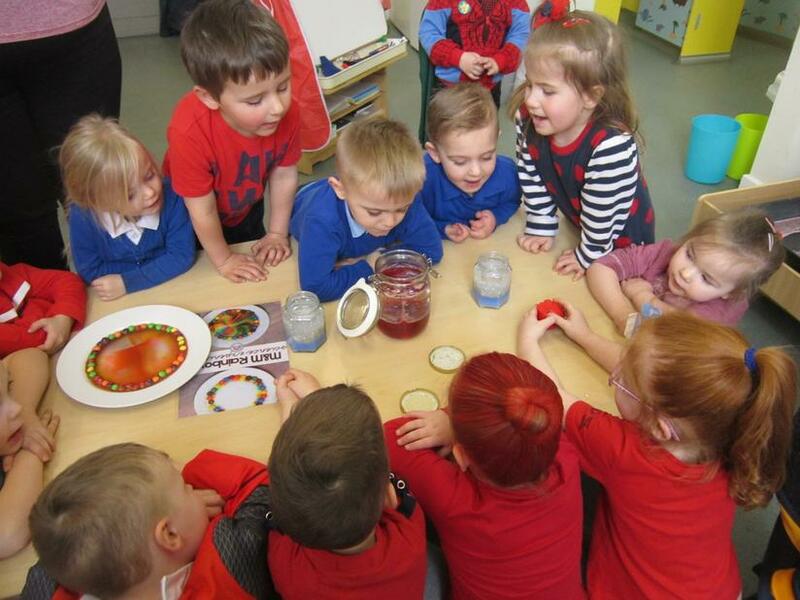 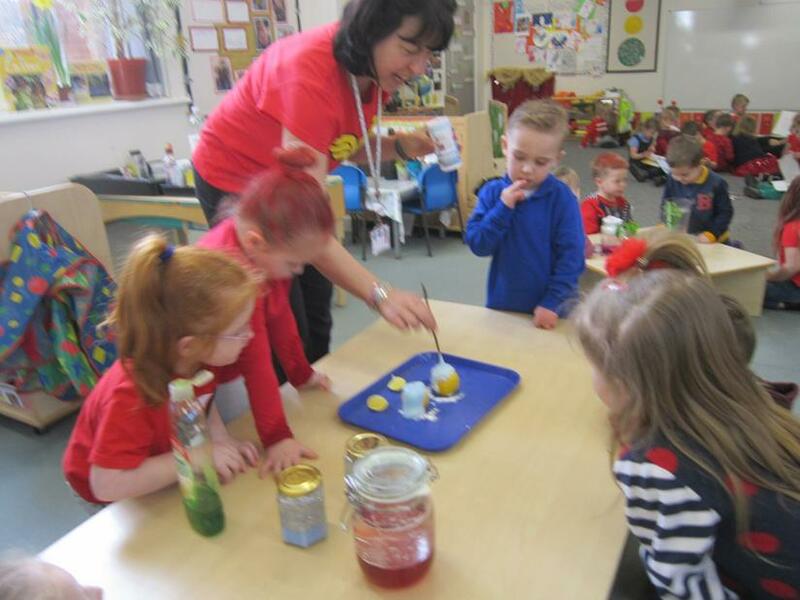 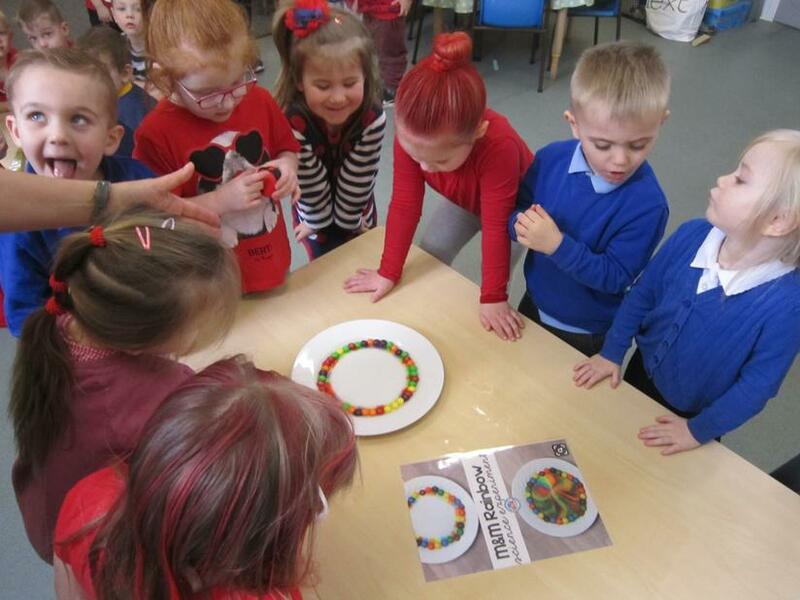 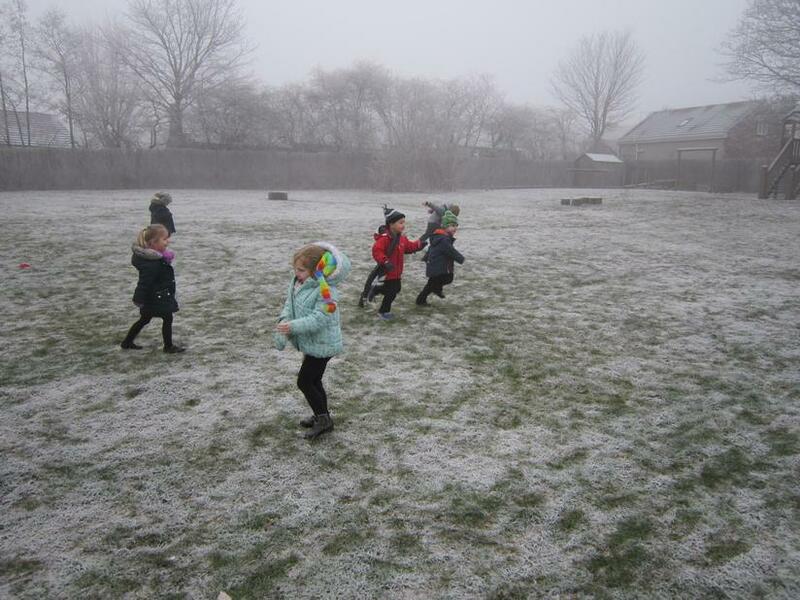 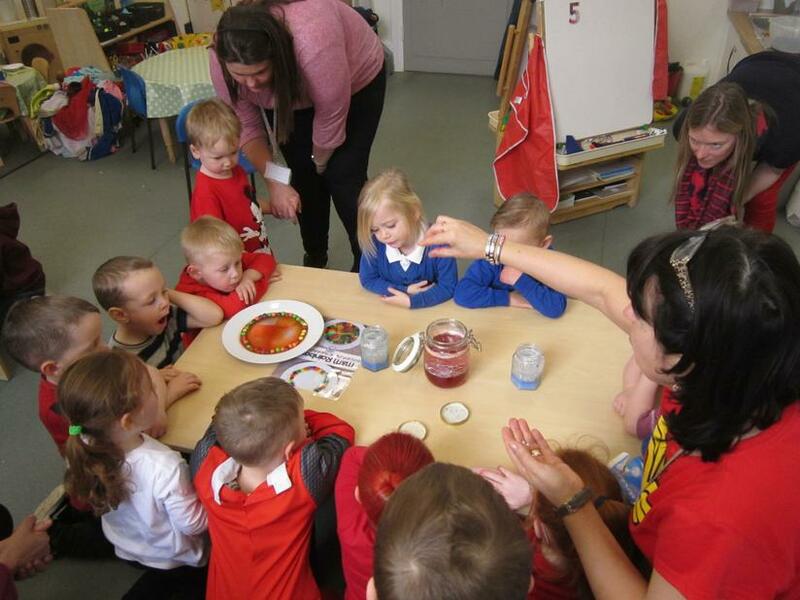 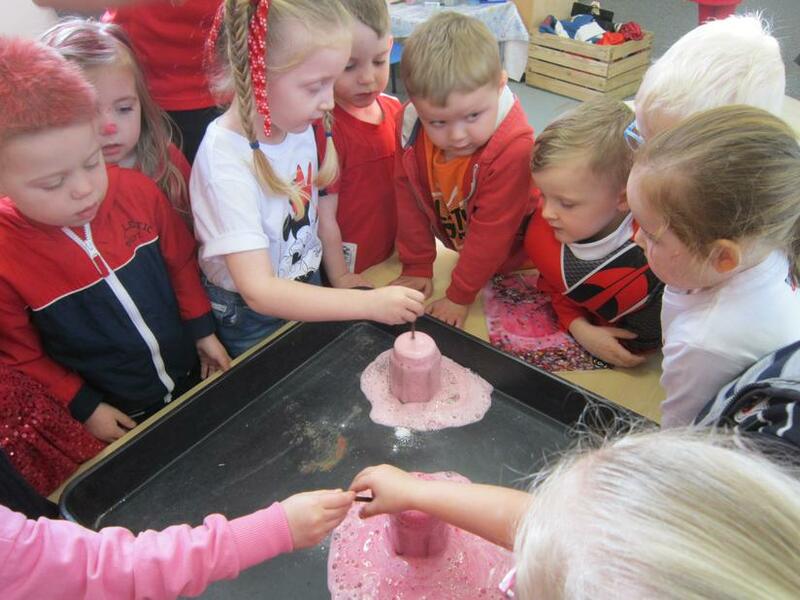 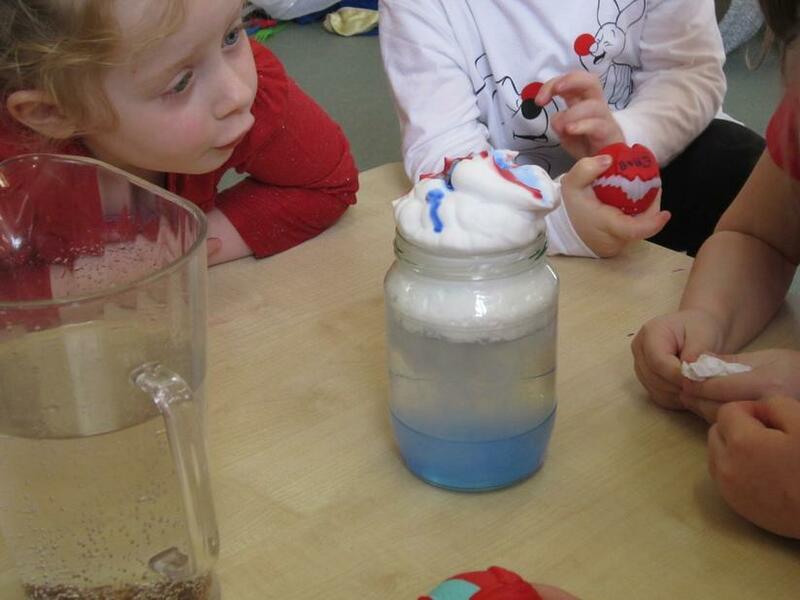 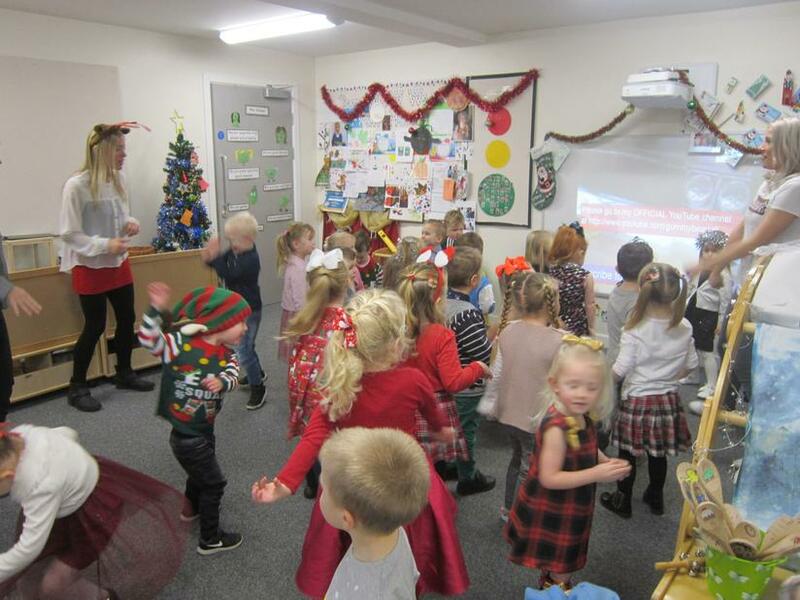 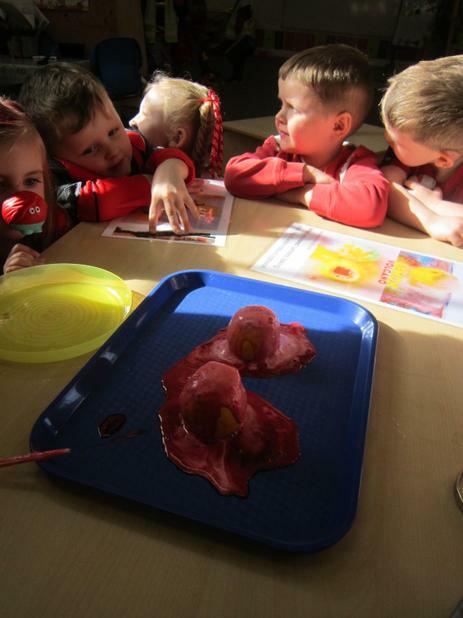 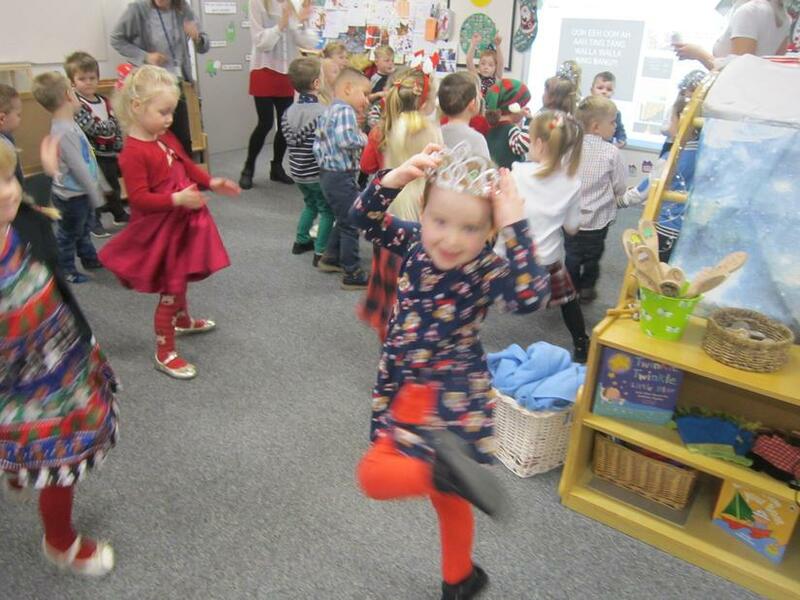 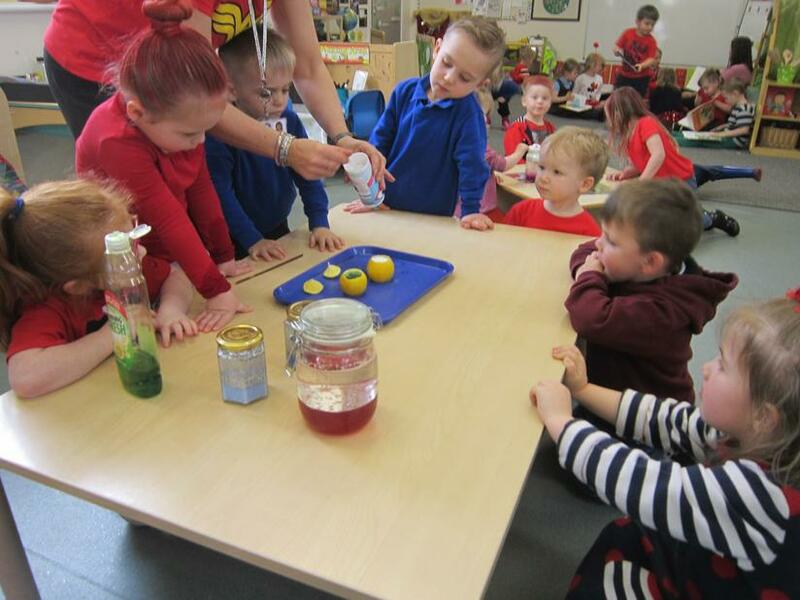 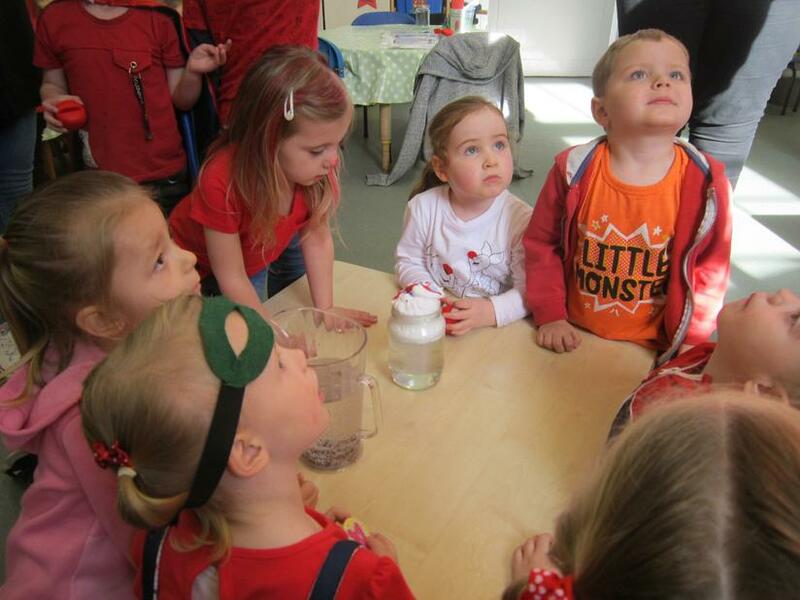 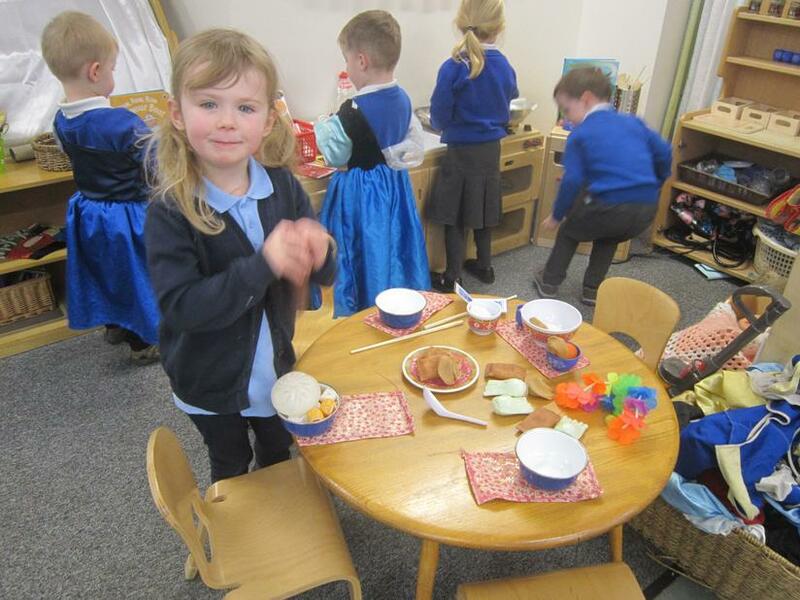 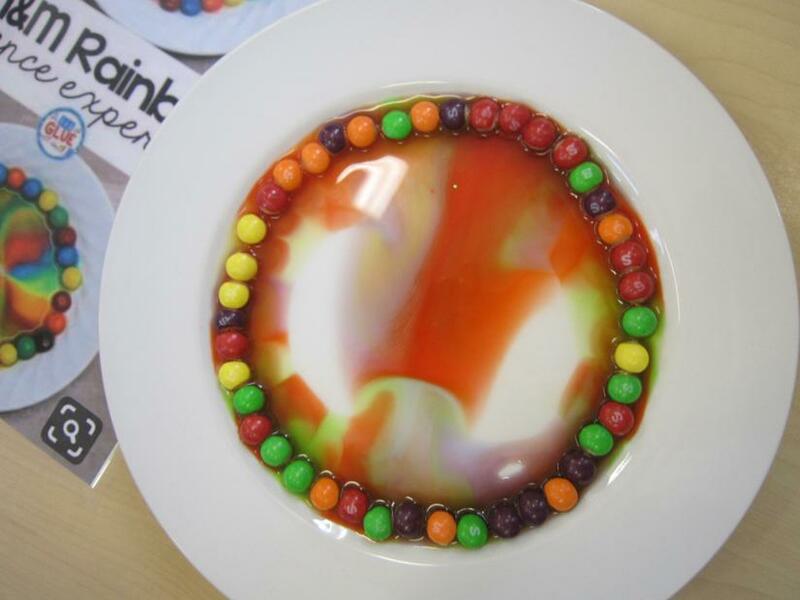 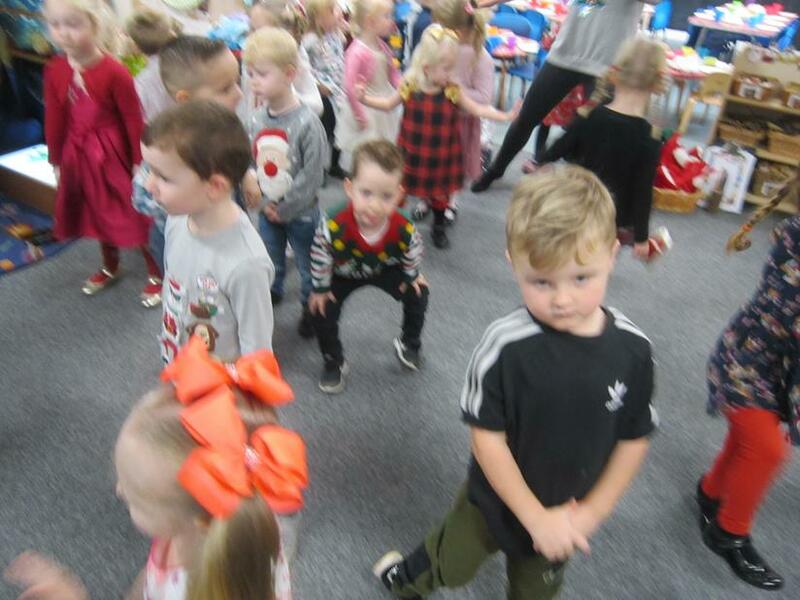 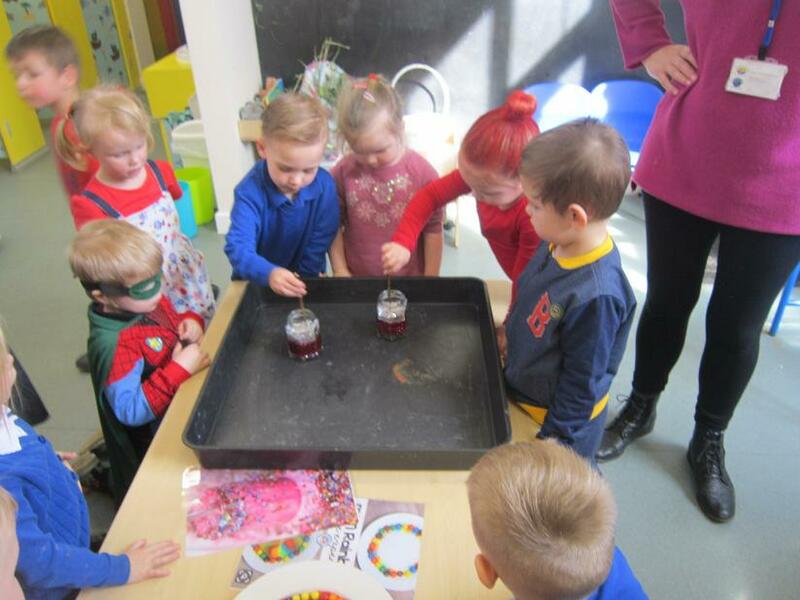 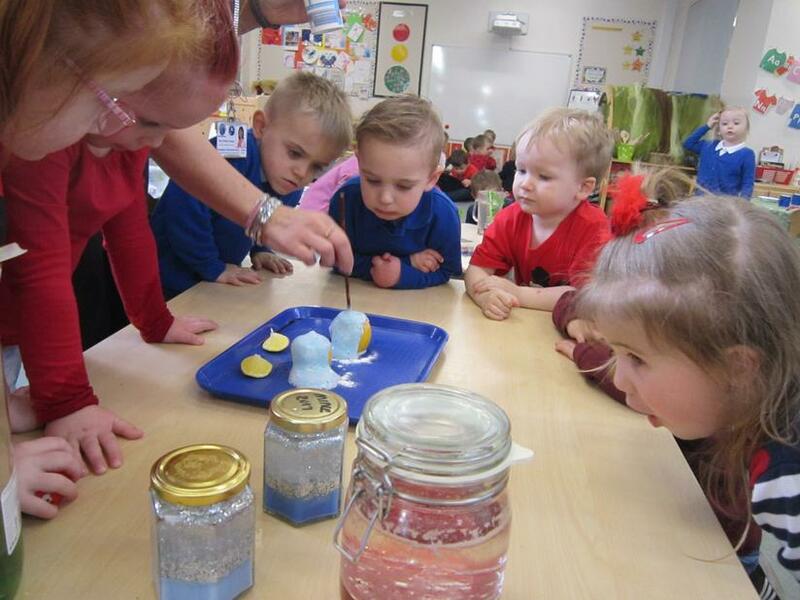 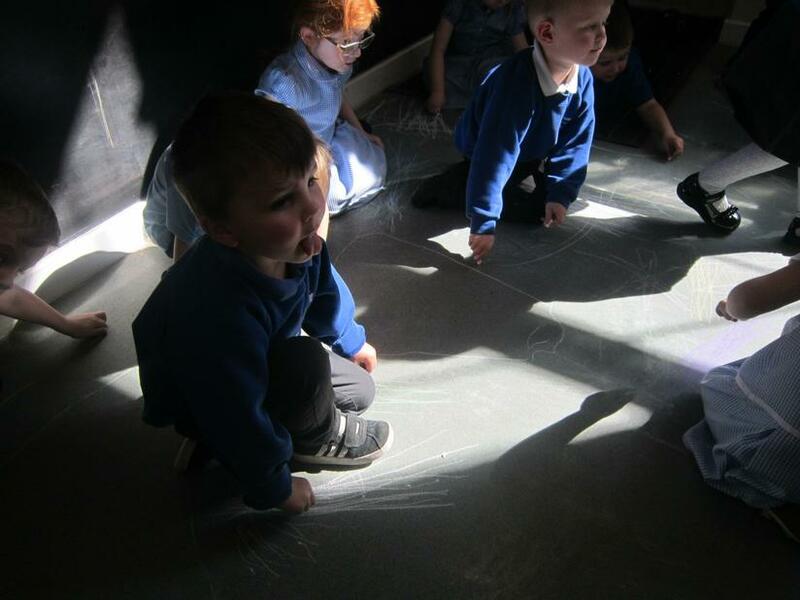 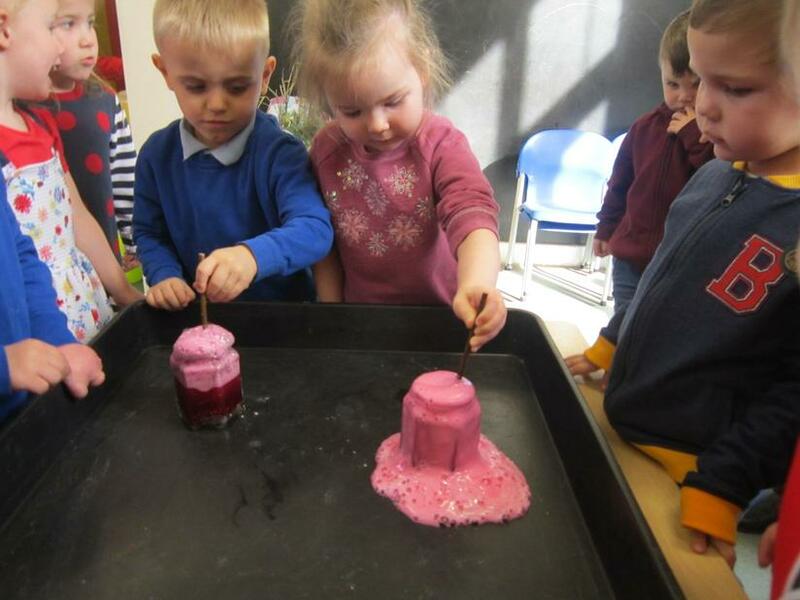 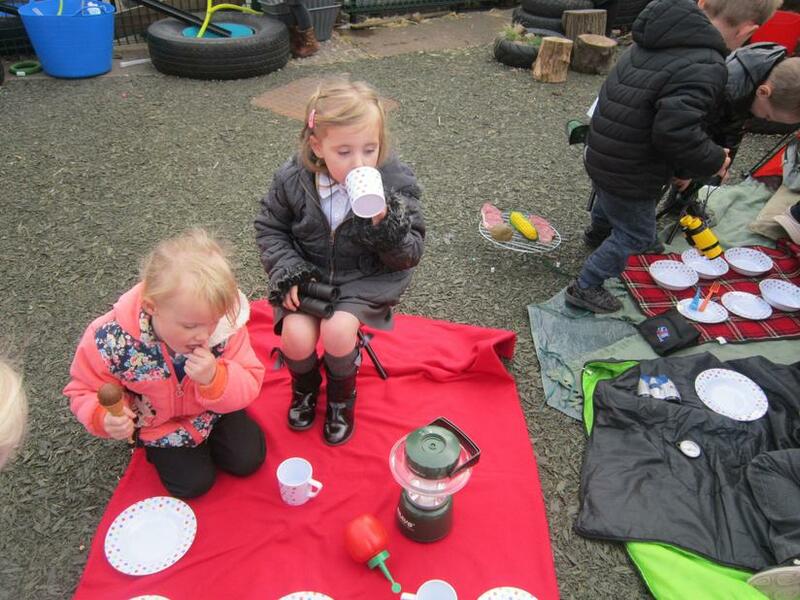 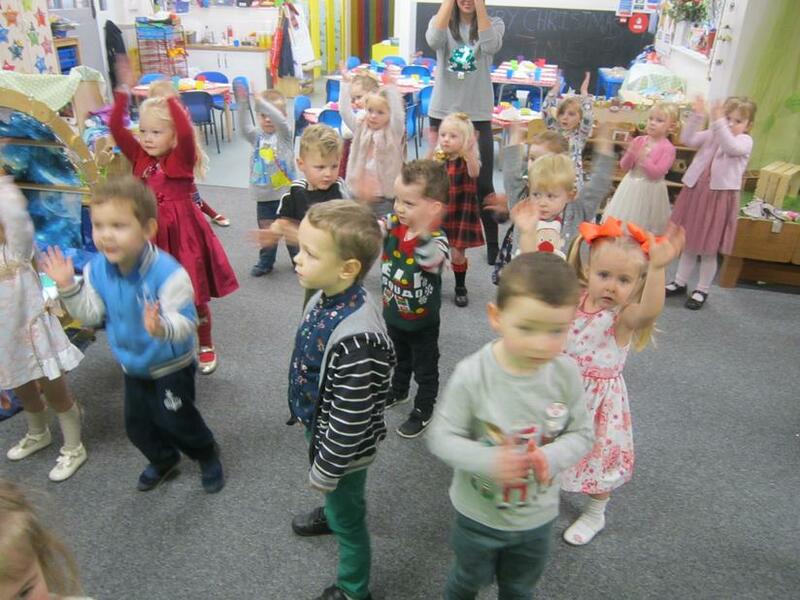 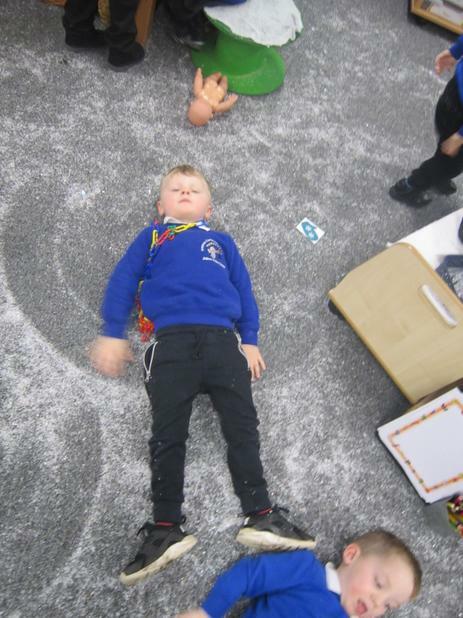 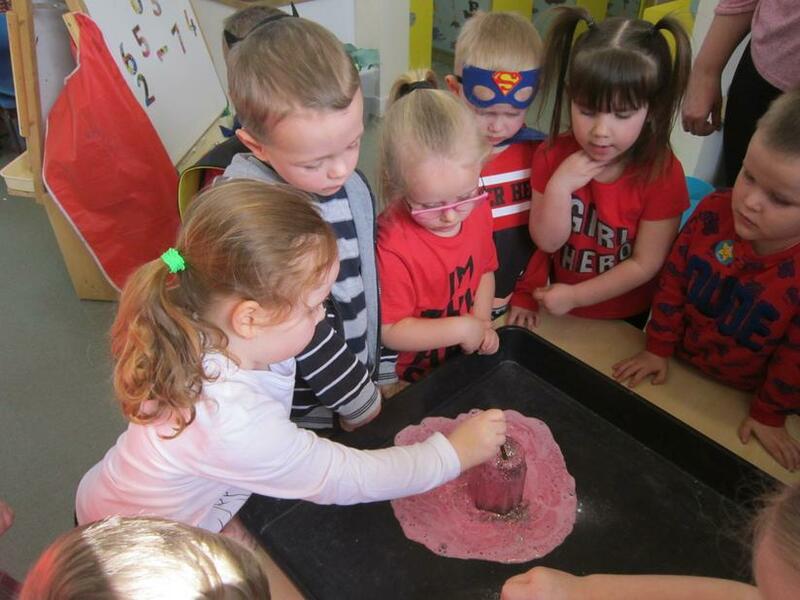 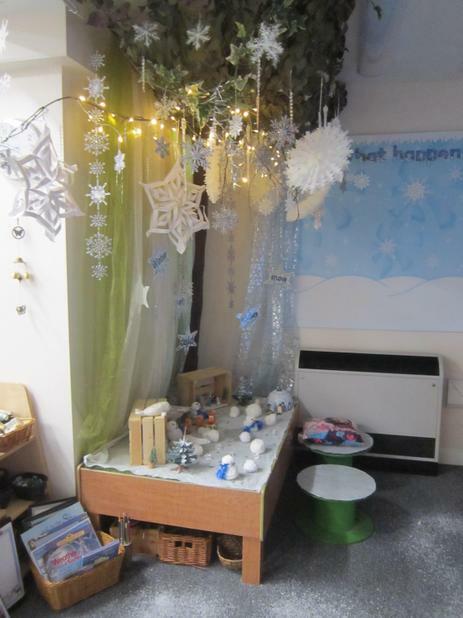 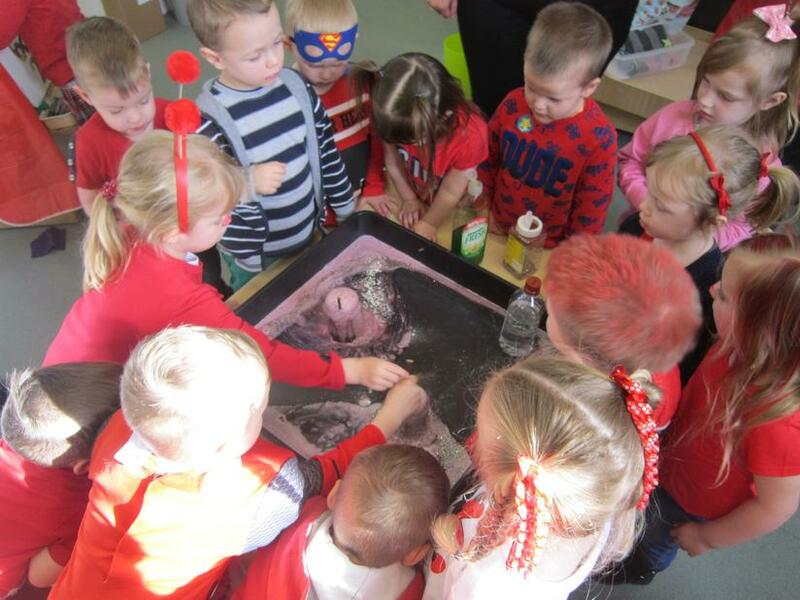 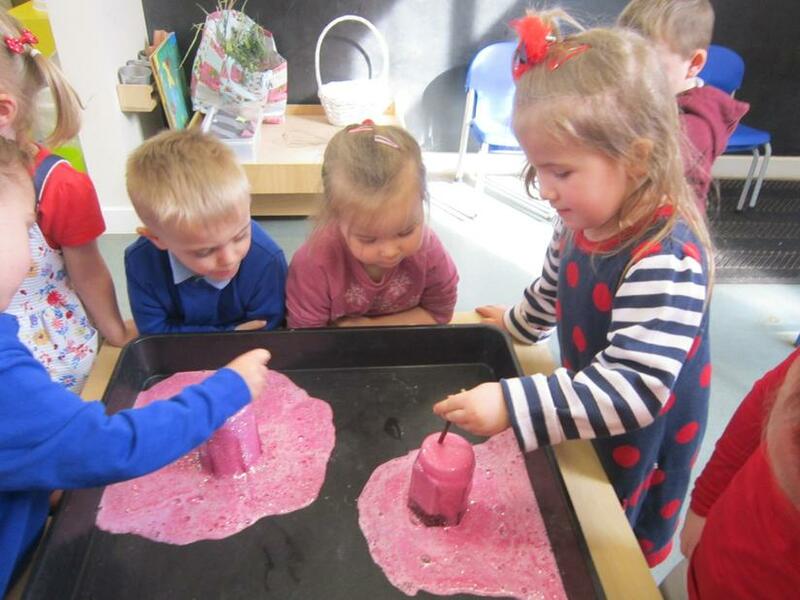 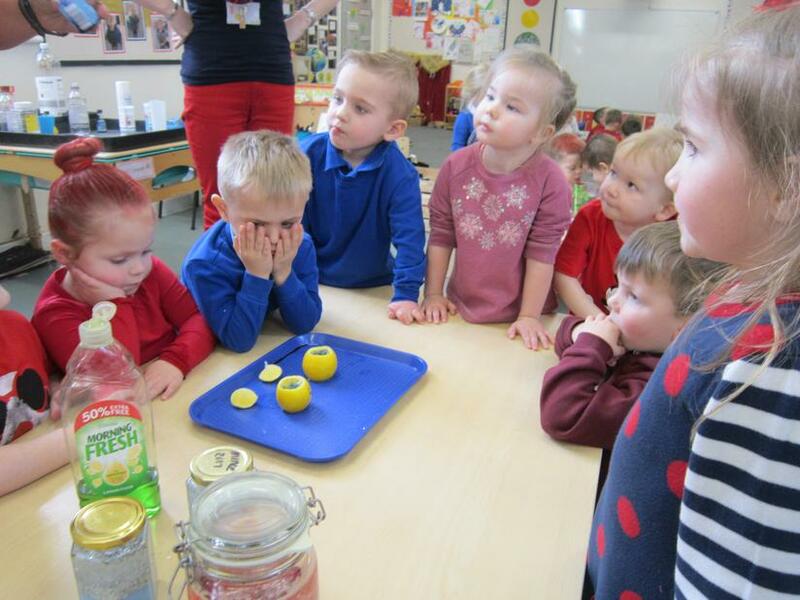 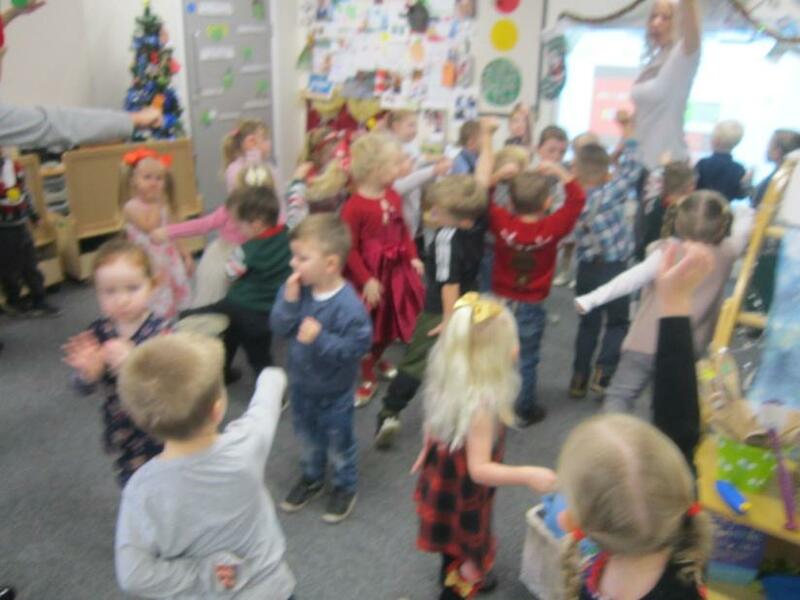 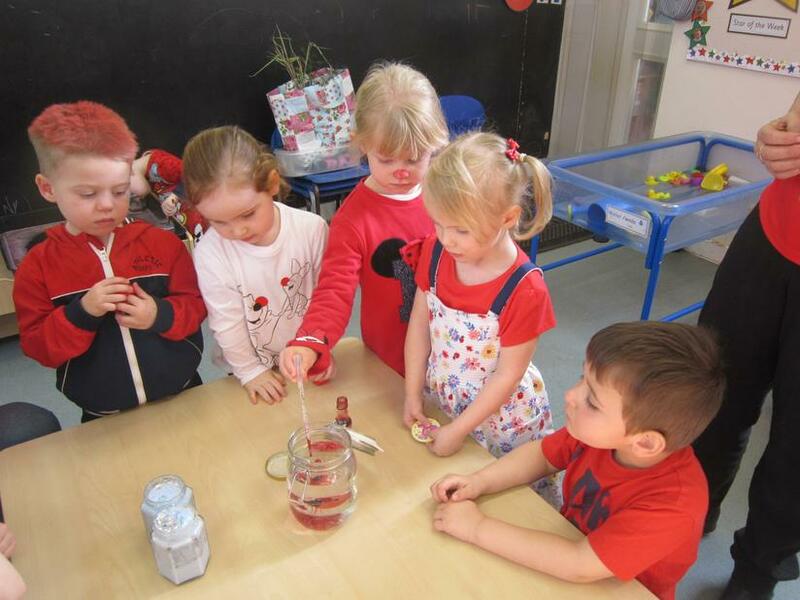 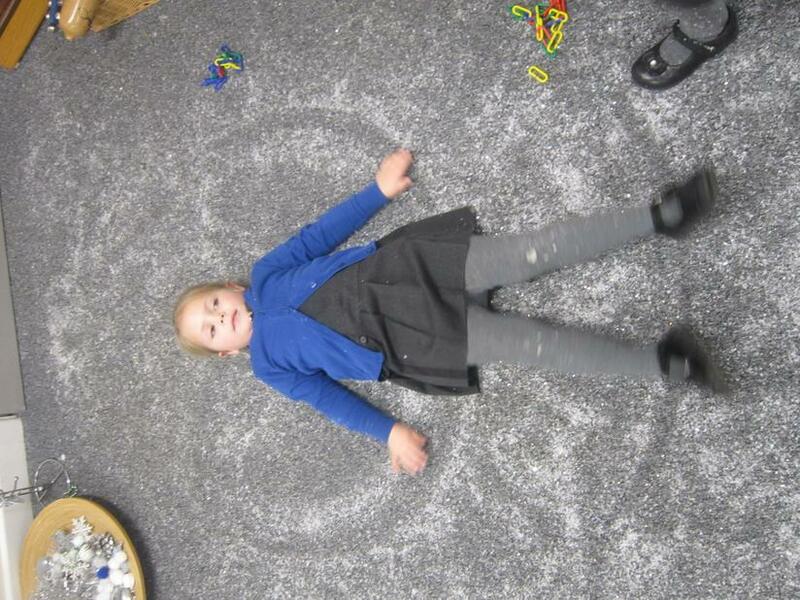 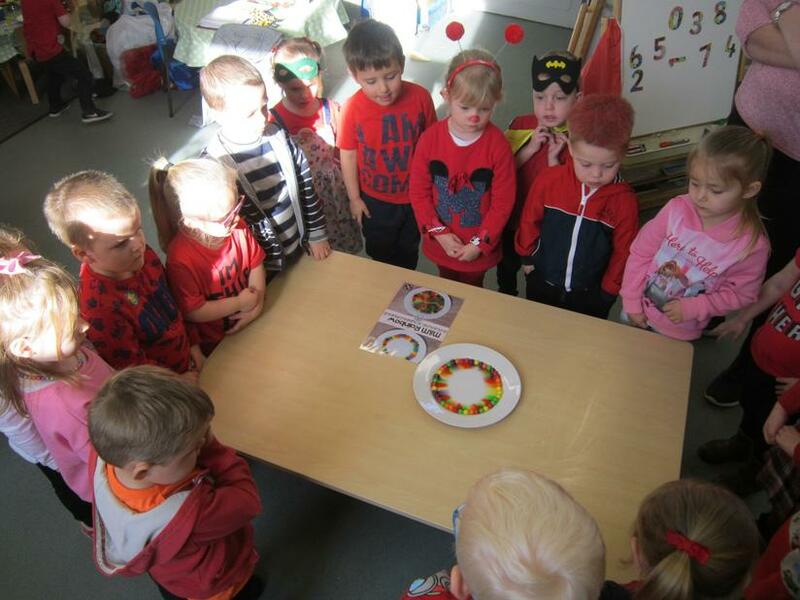 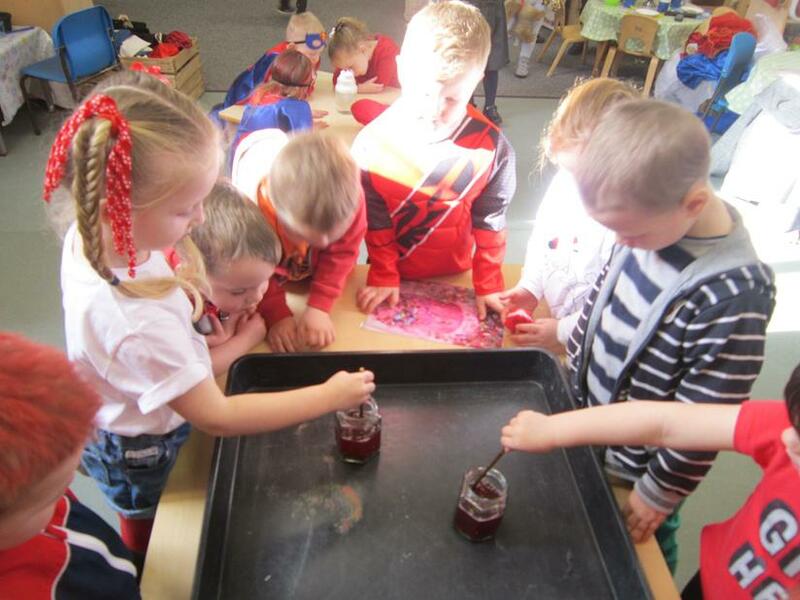 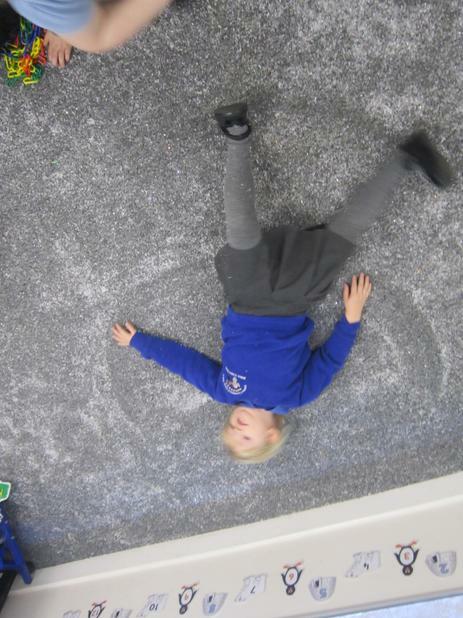 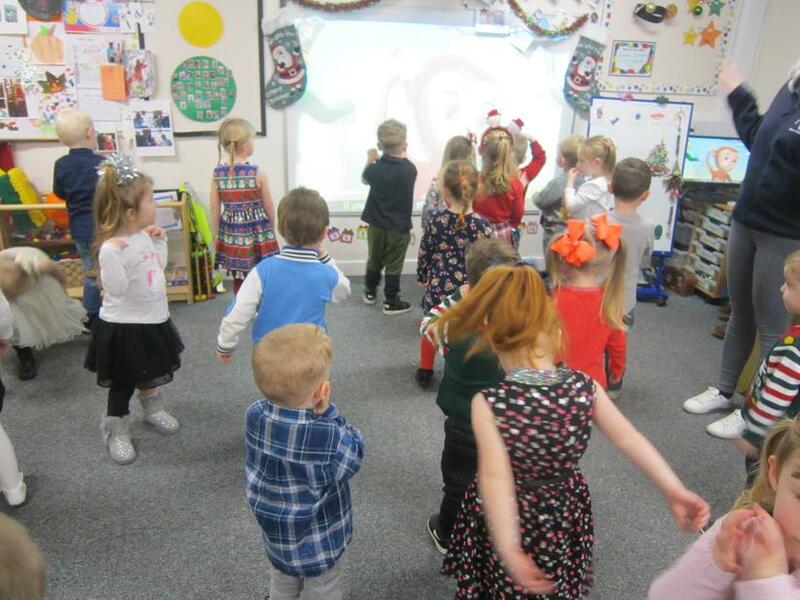 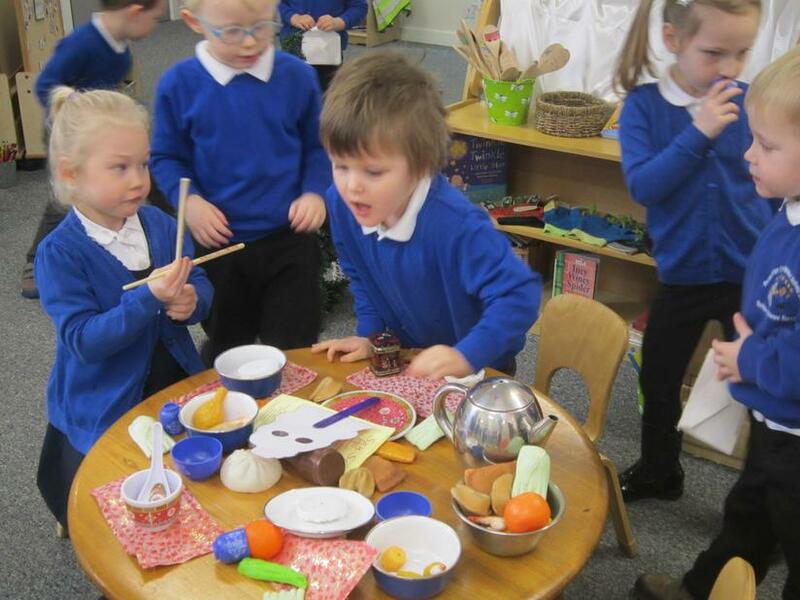 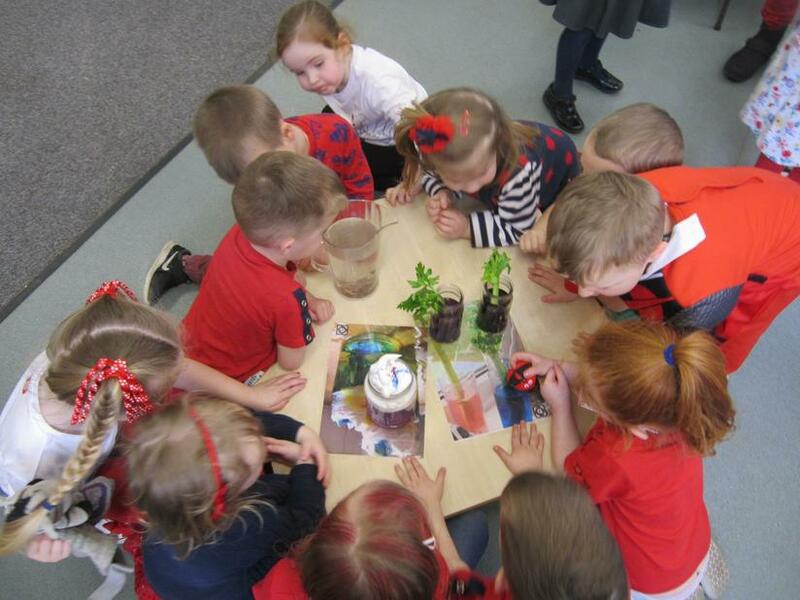 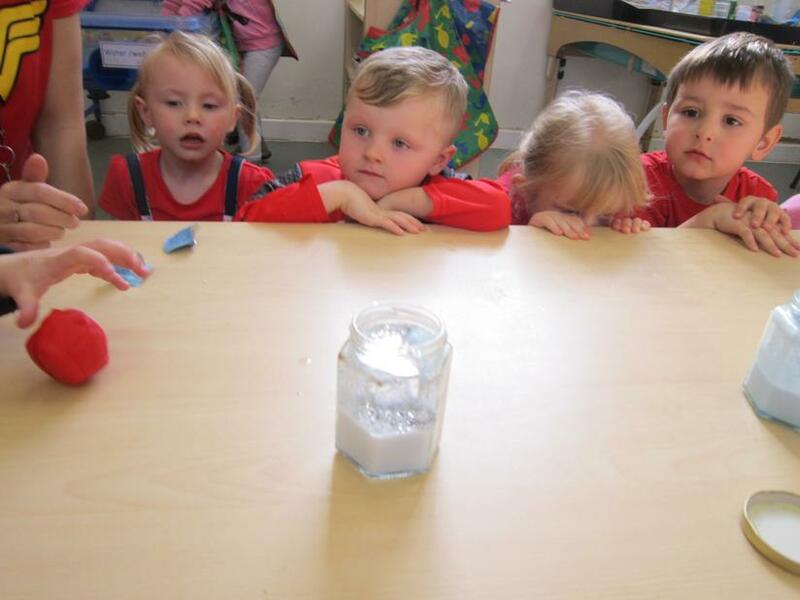 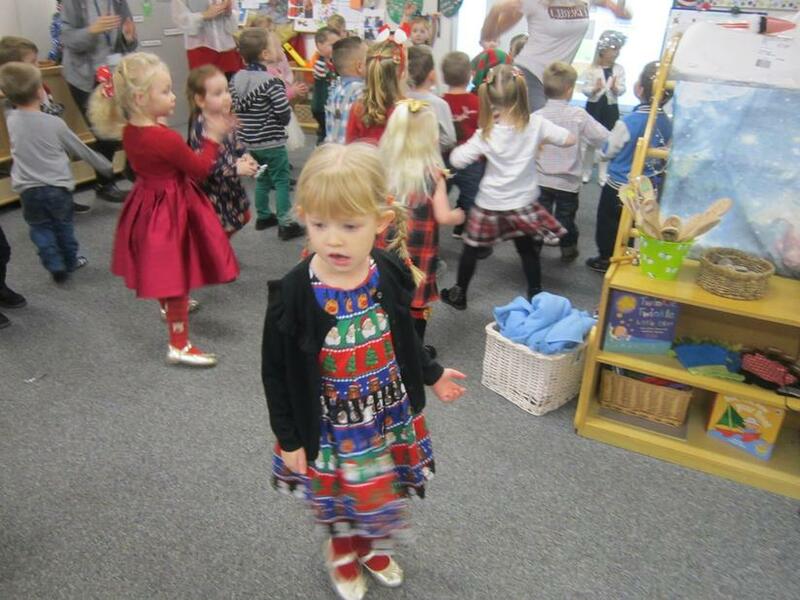 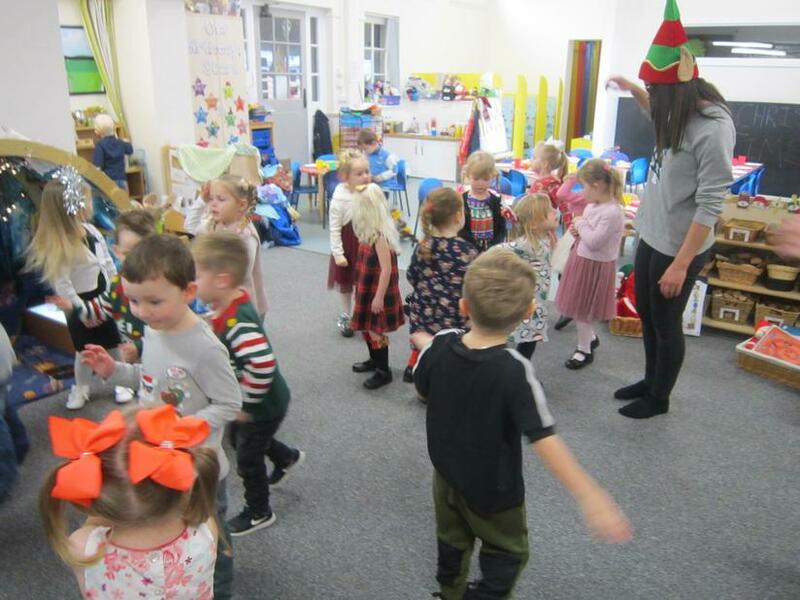 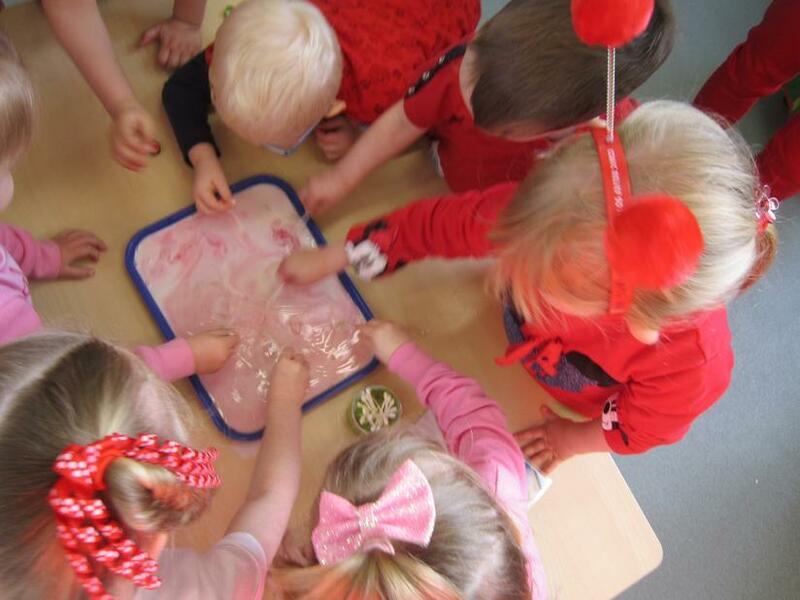 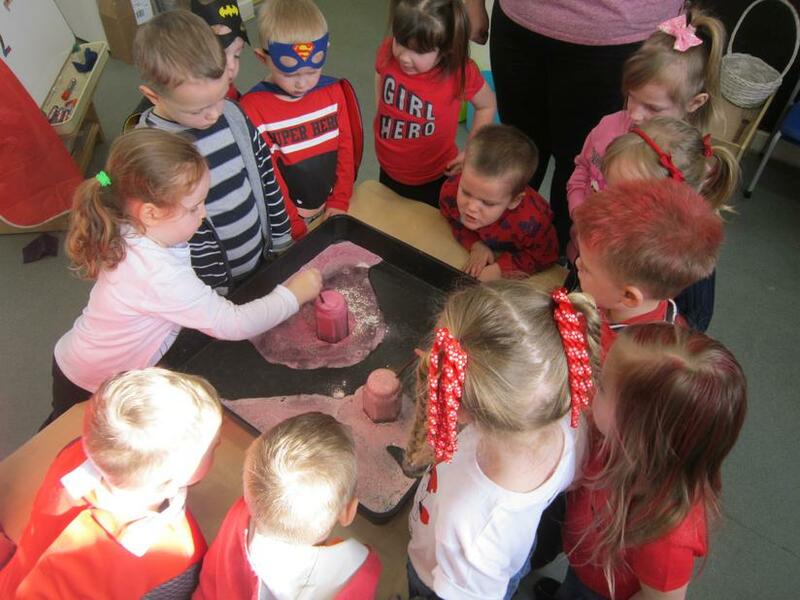 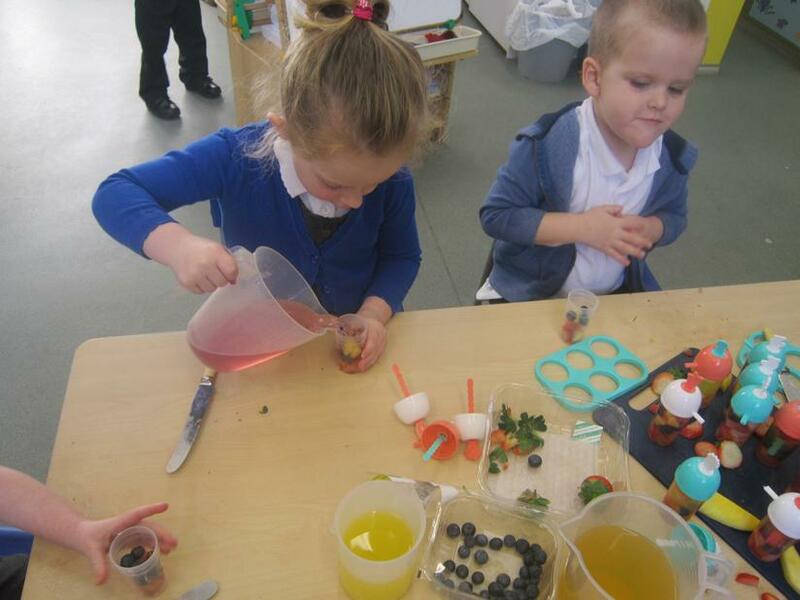 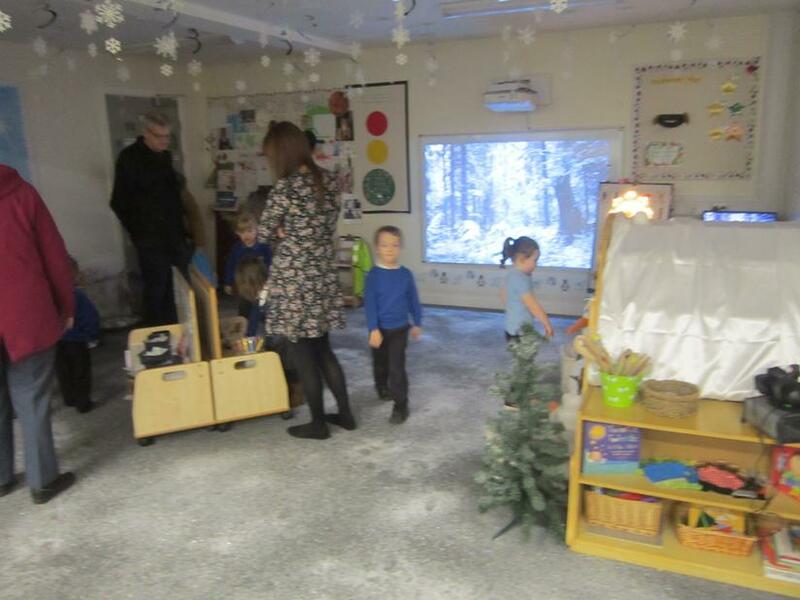 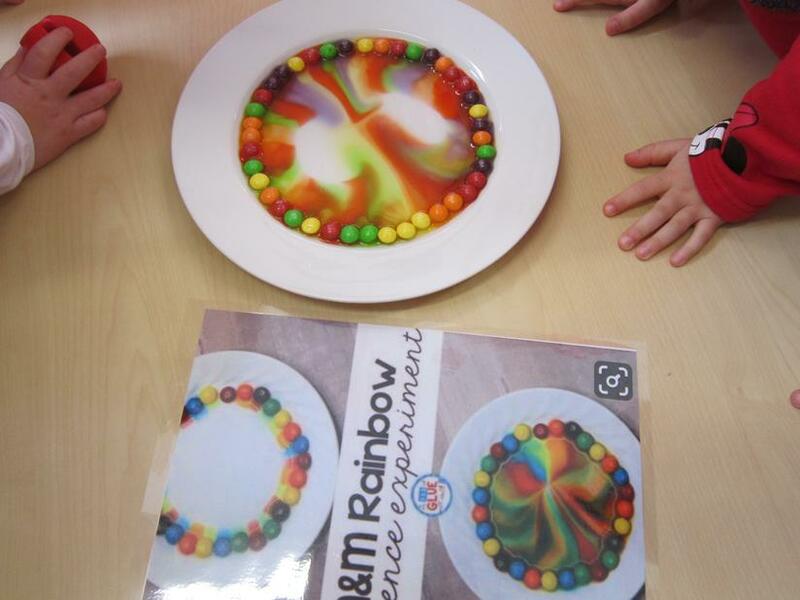 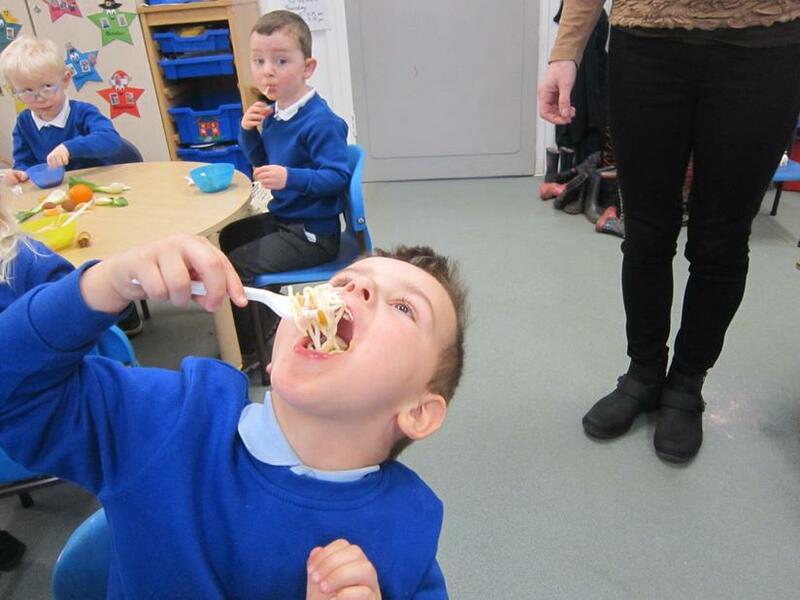 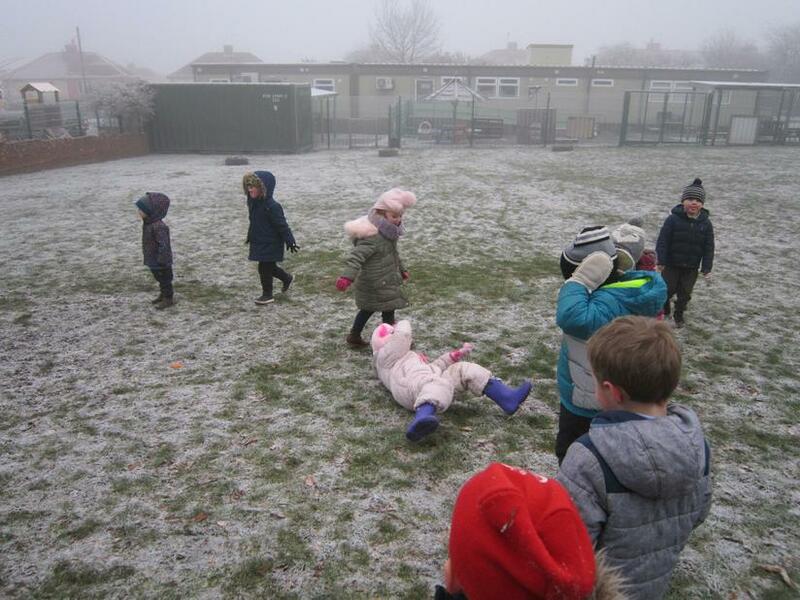 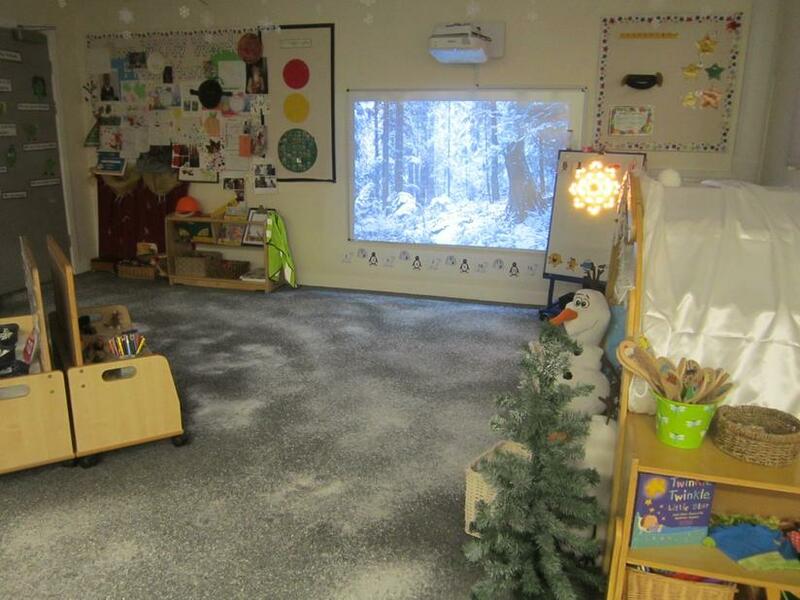 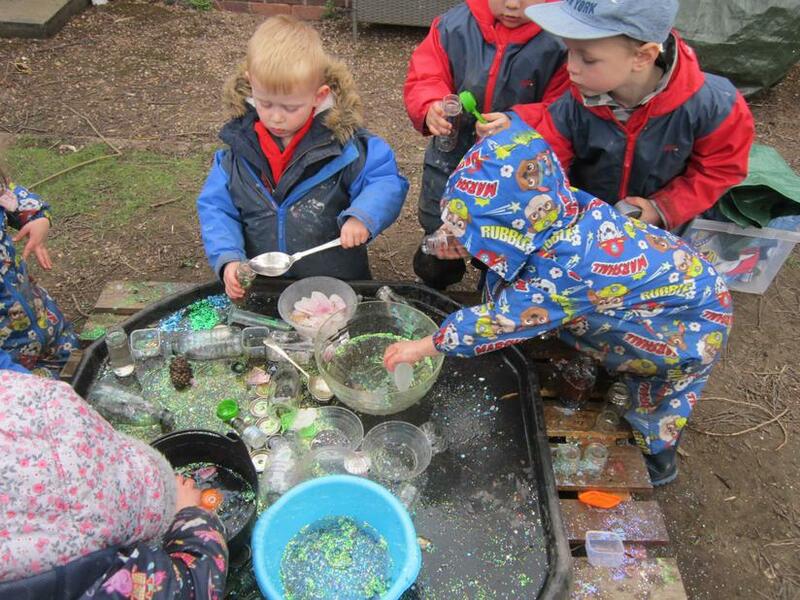 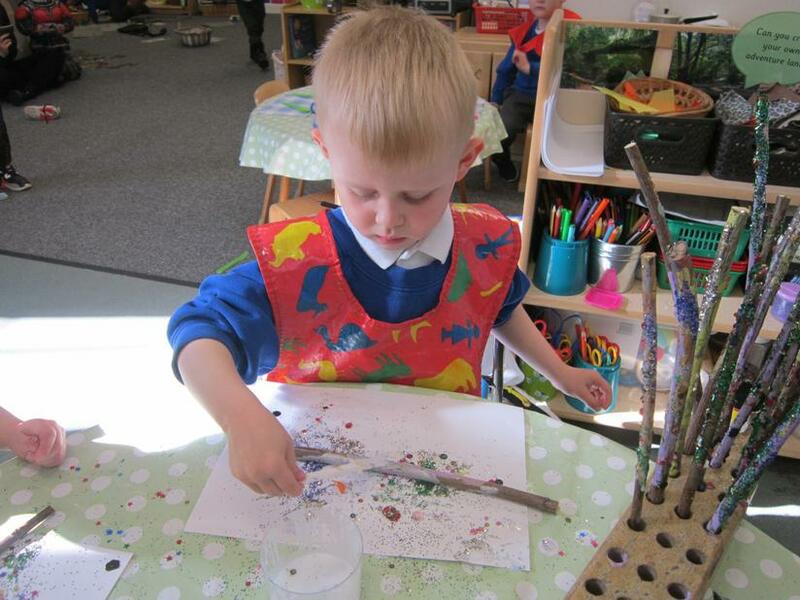 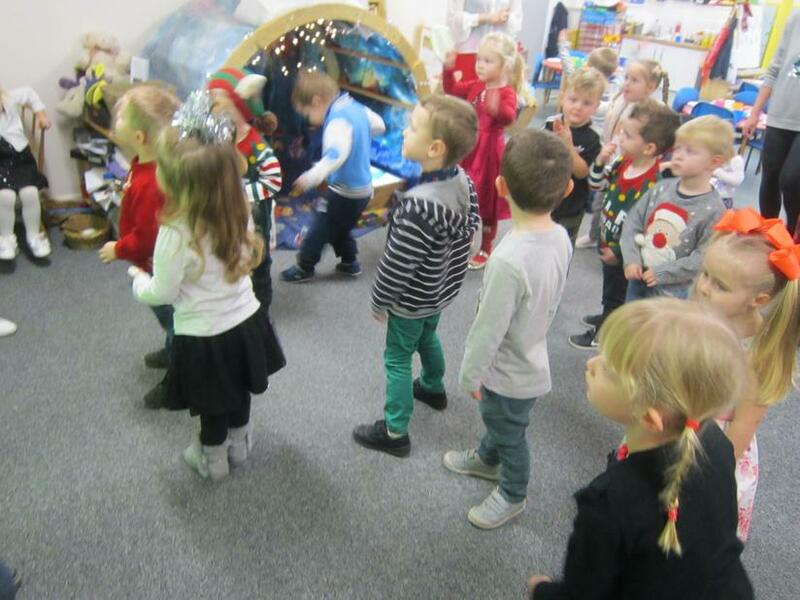 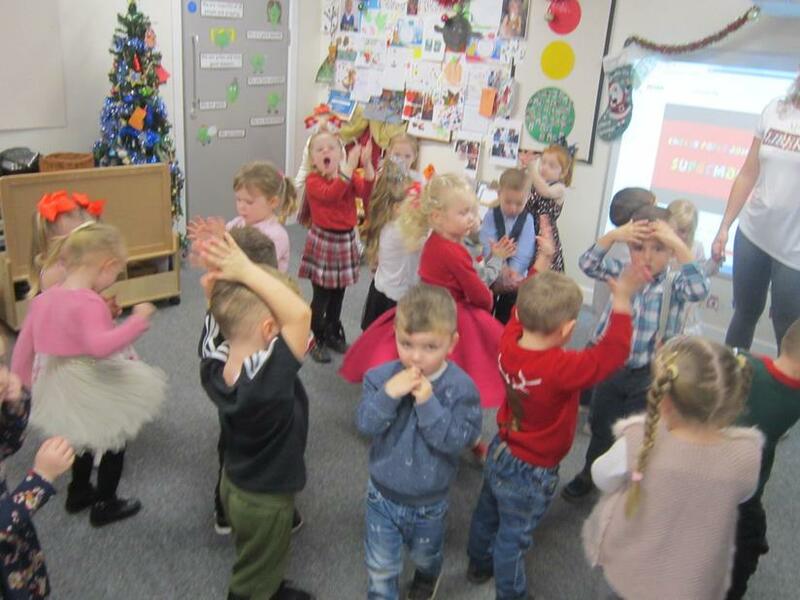 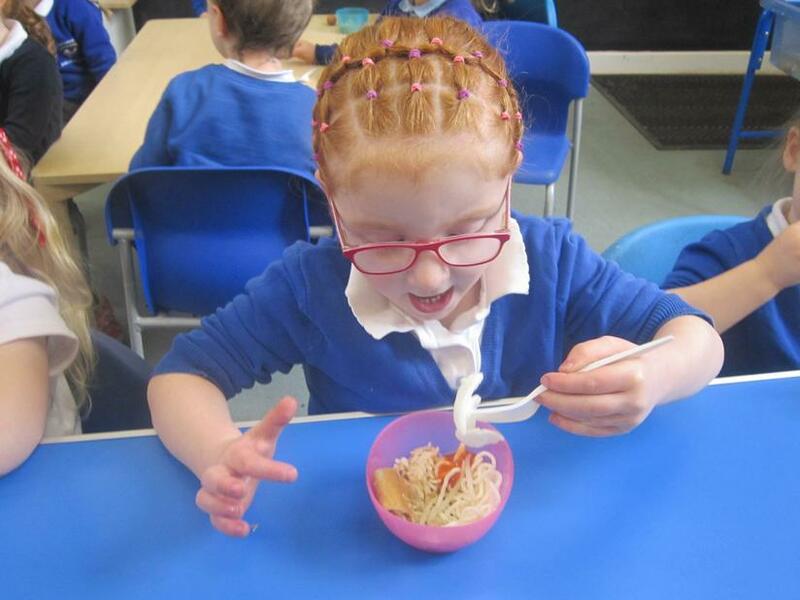 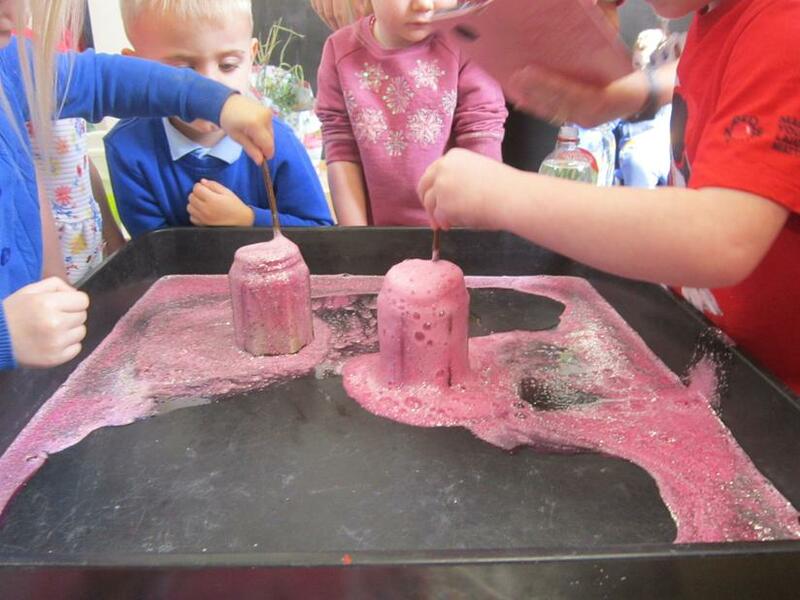 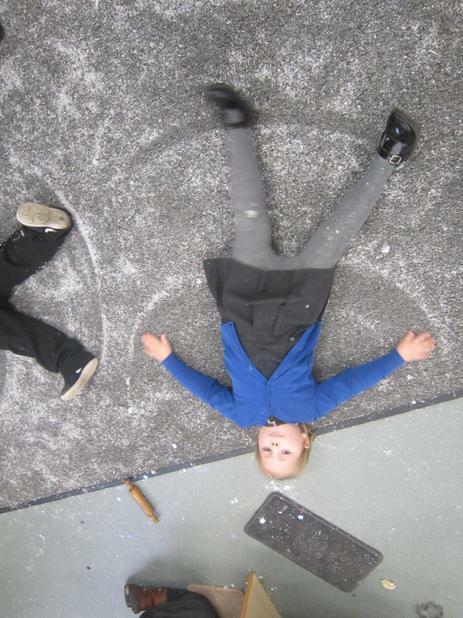 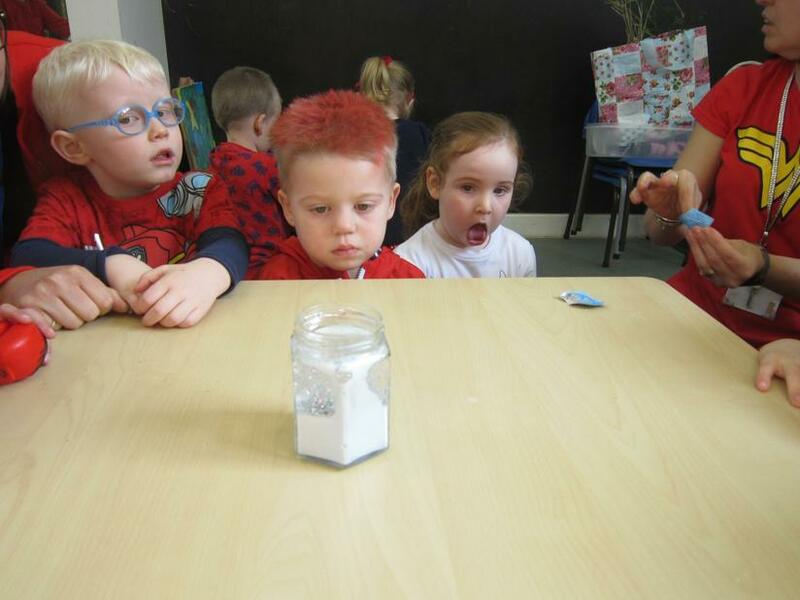 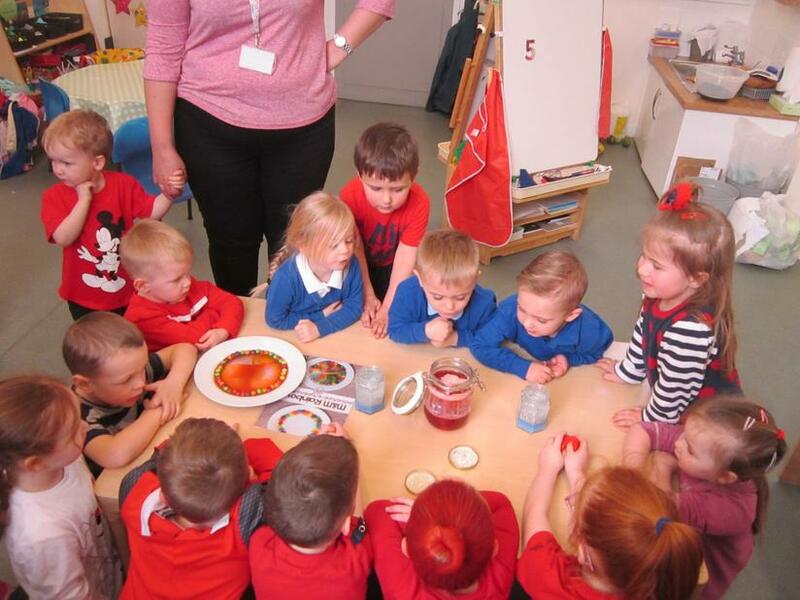 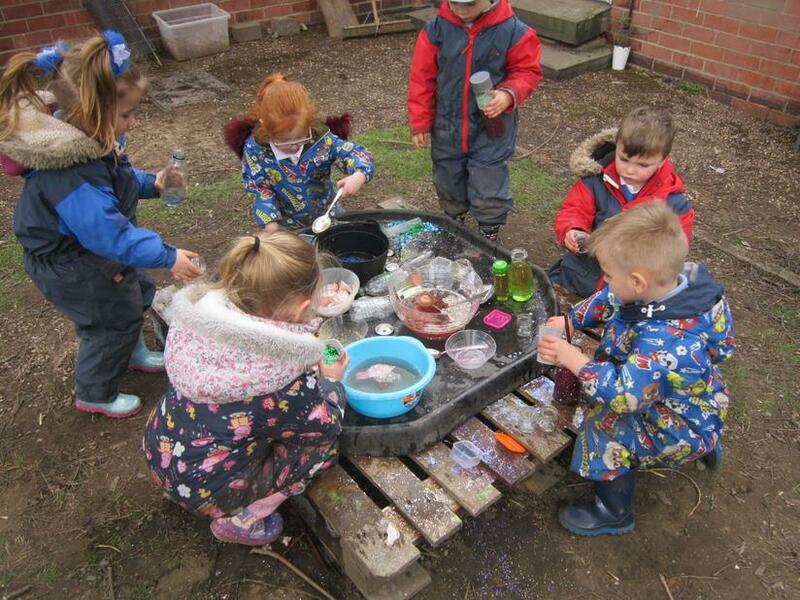 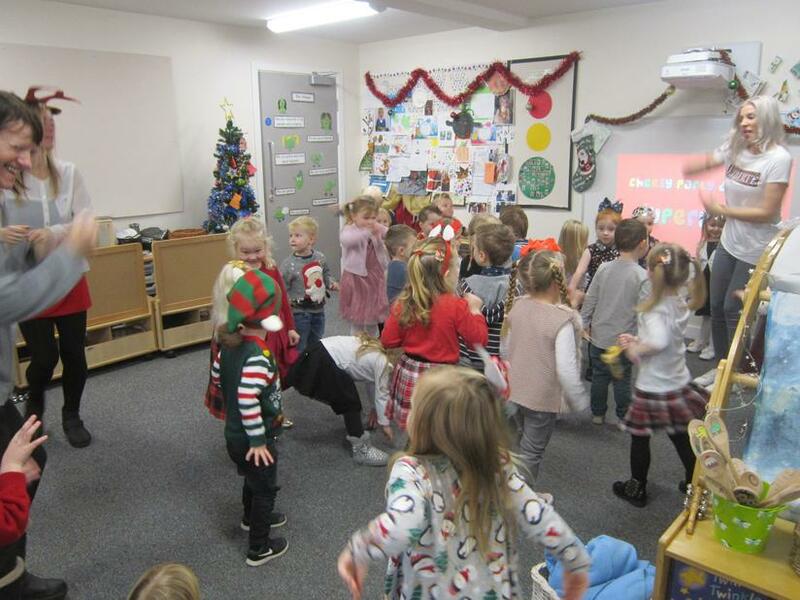 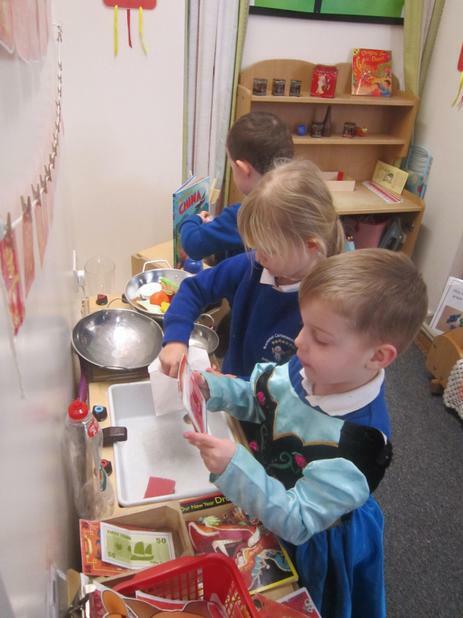 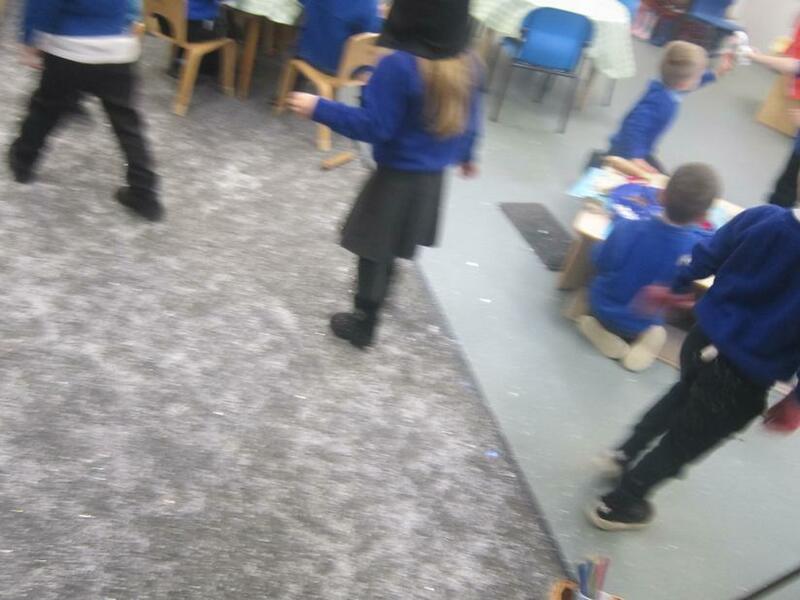 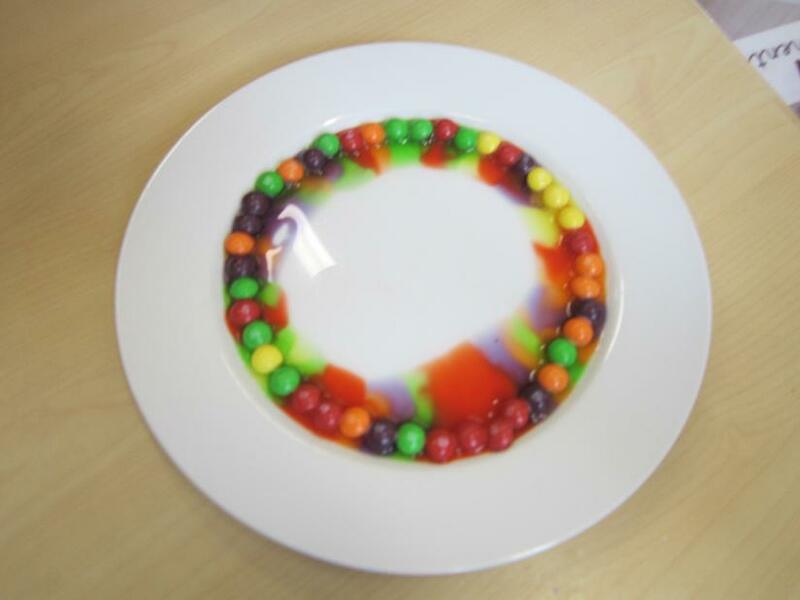 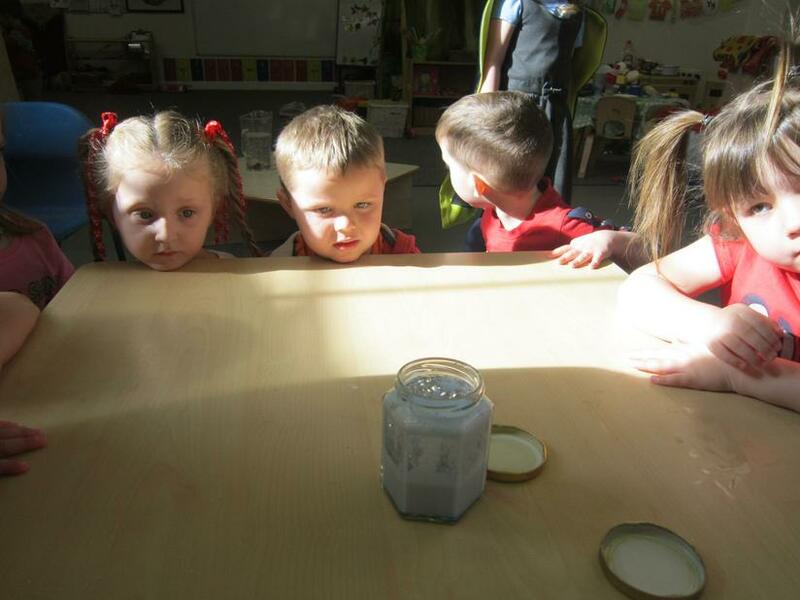 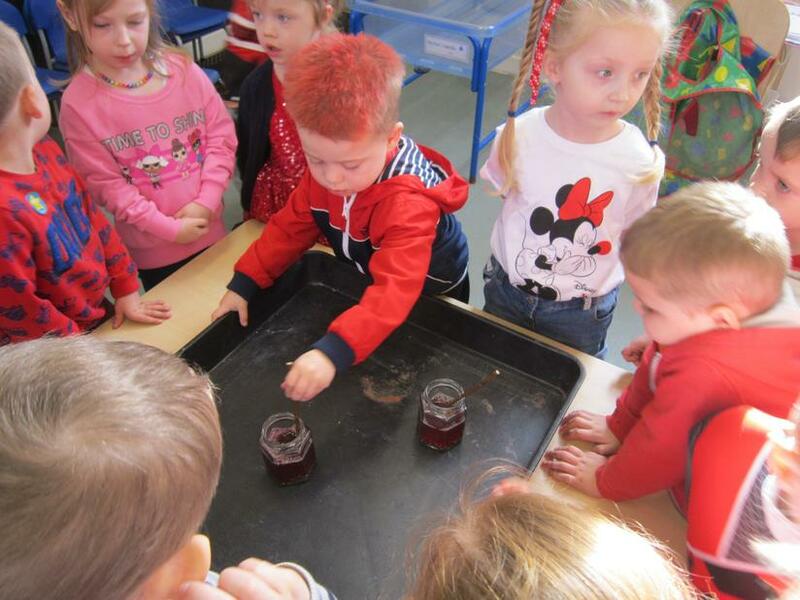 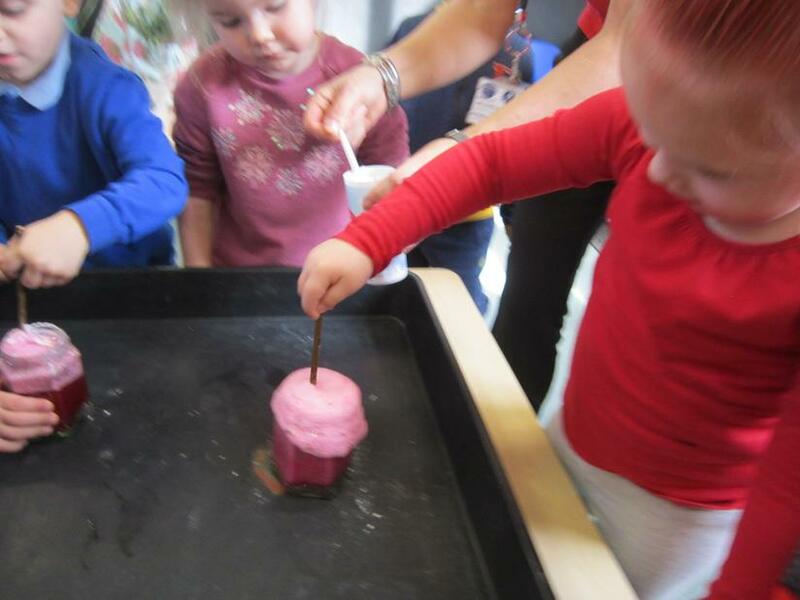 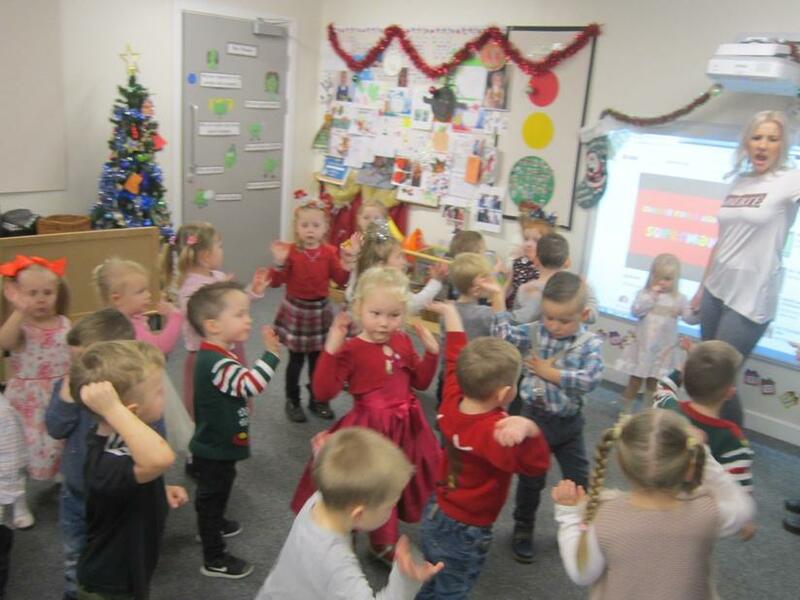 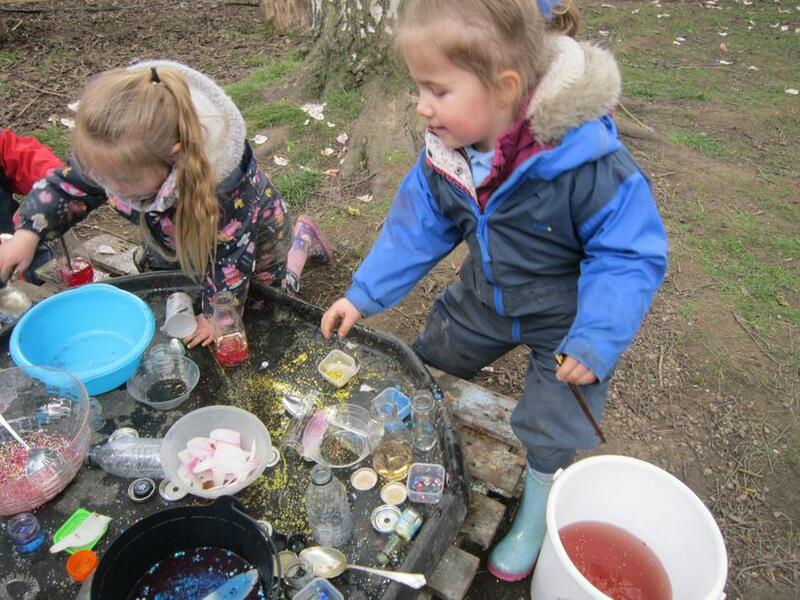 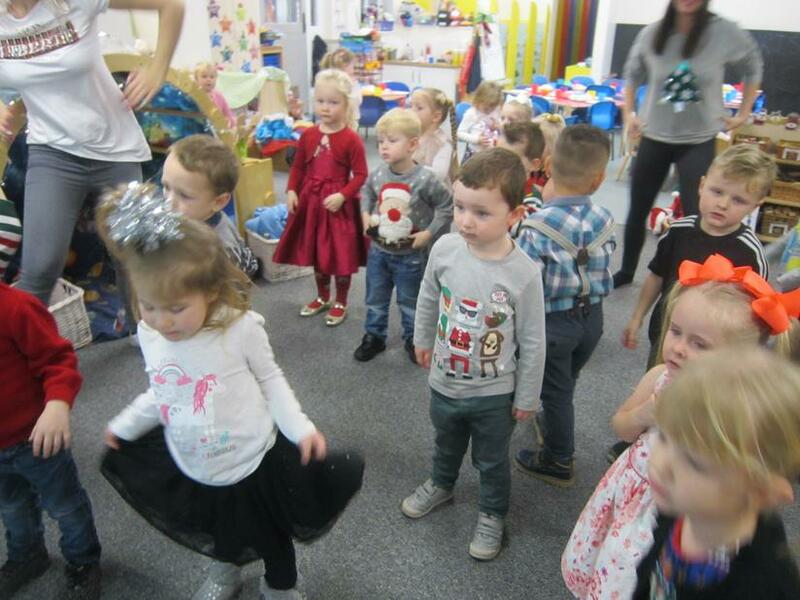 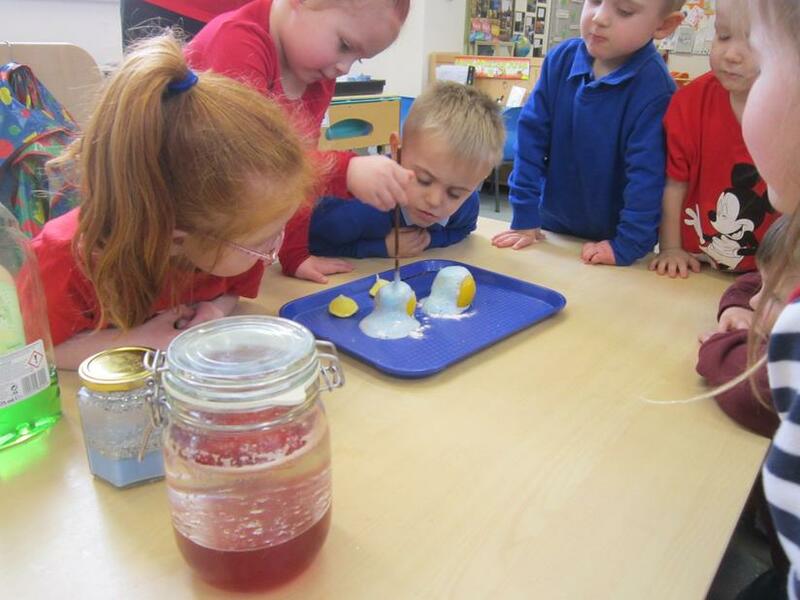 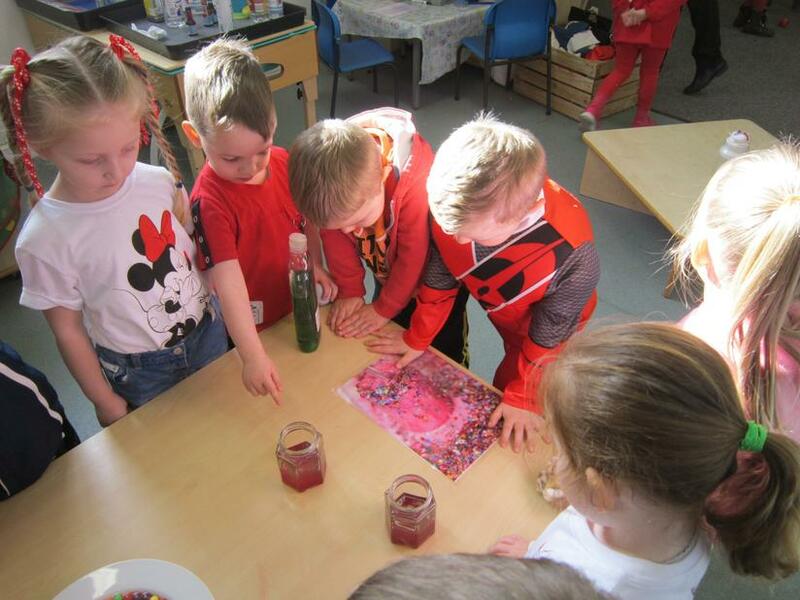 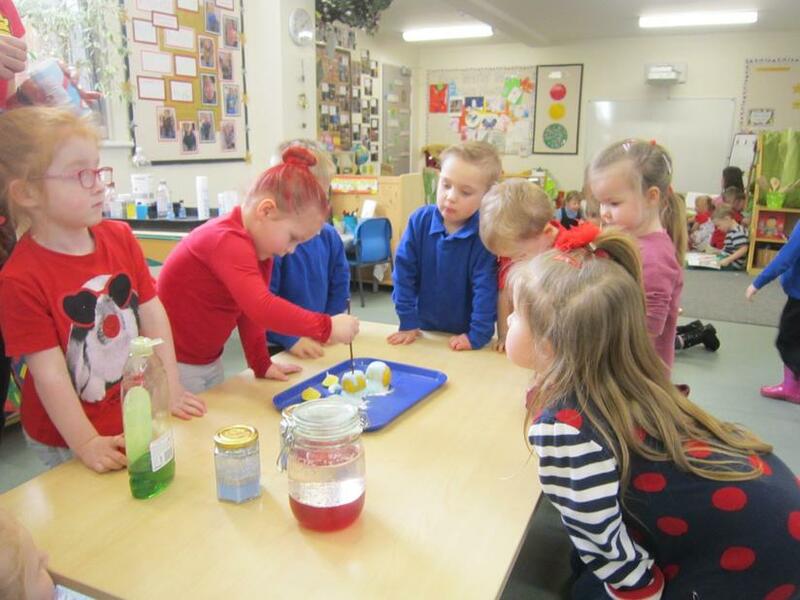 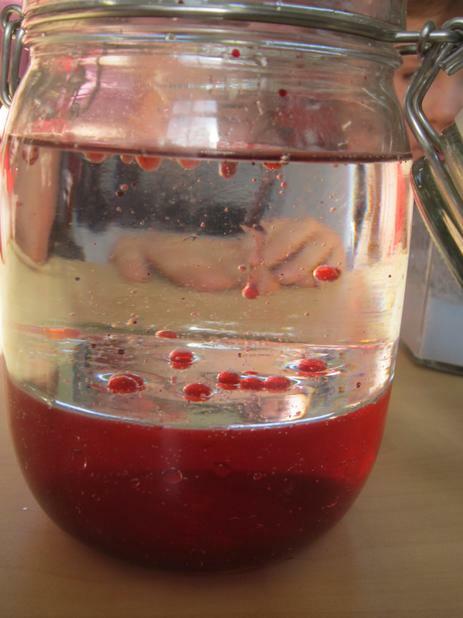 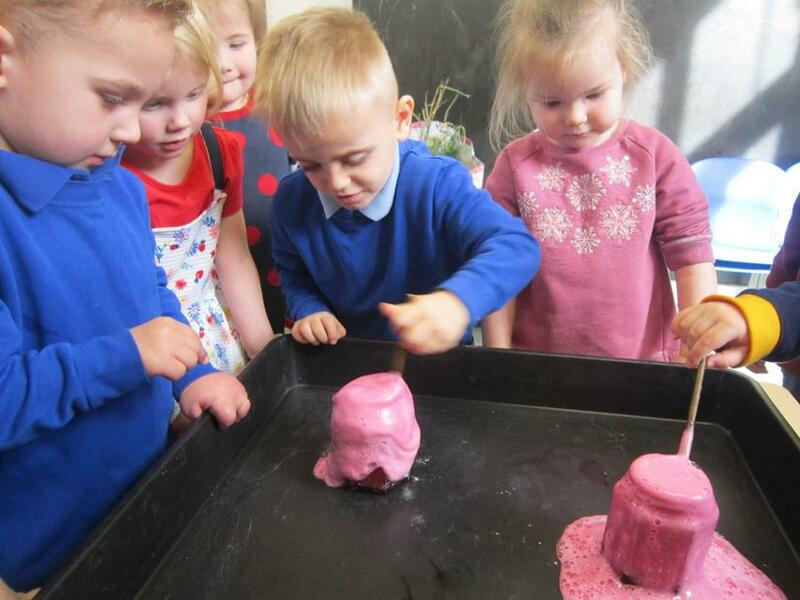 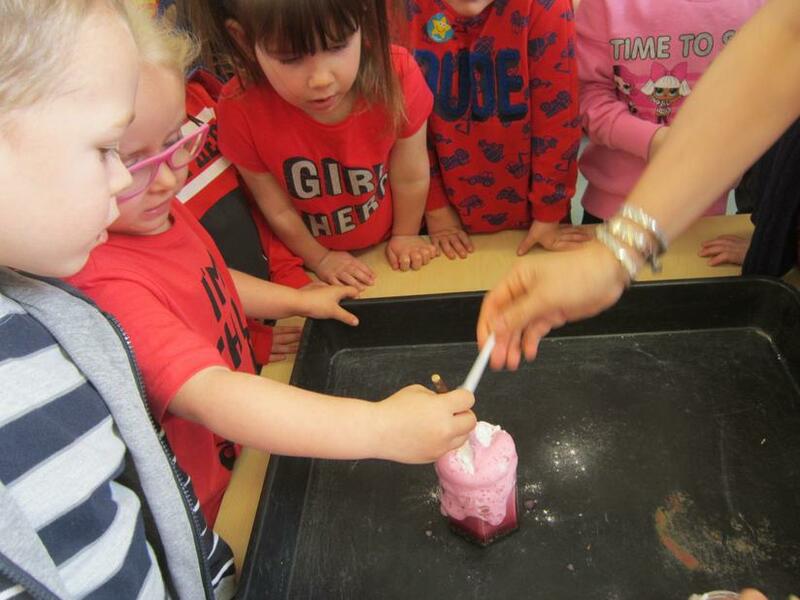 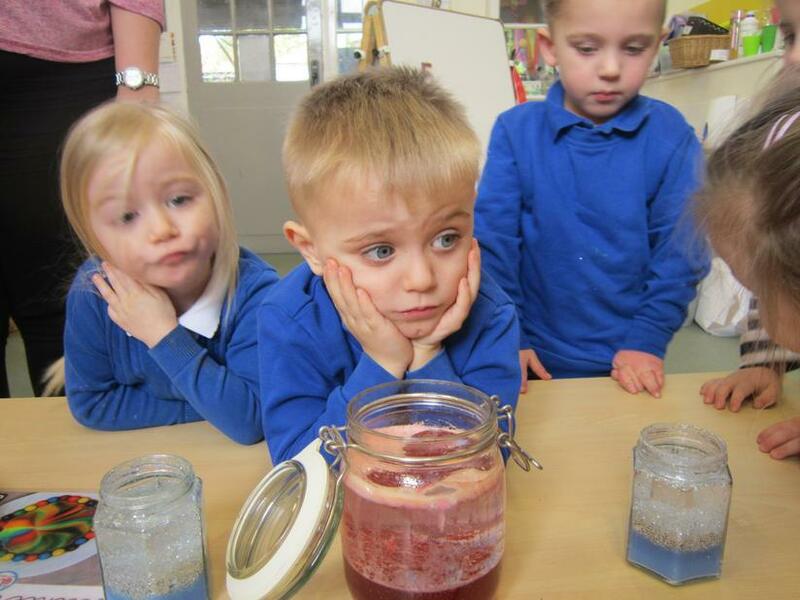 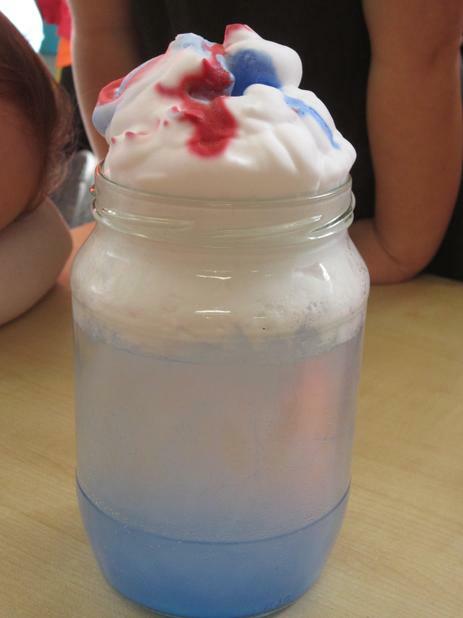 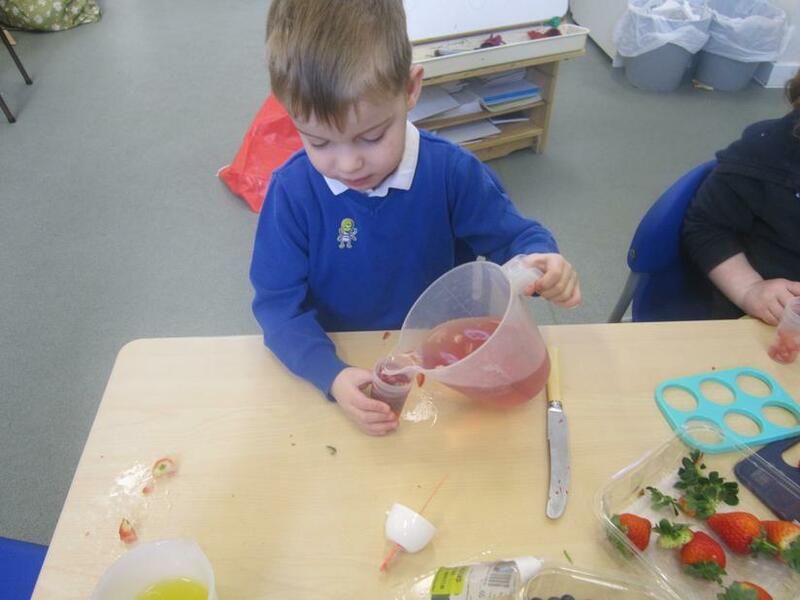 We watched raisins dancing, lemon volcanoes, rain clouds, mixed fairy potions, made skittle rainbows, dyed celery, made a lava lamp, snow storms and made magic milk. 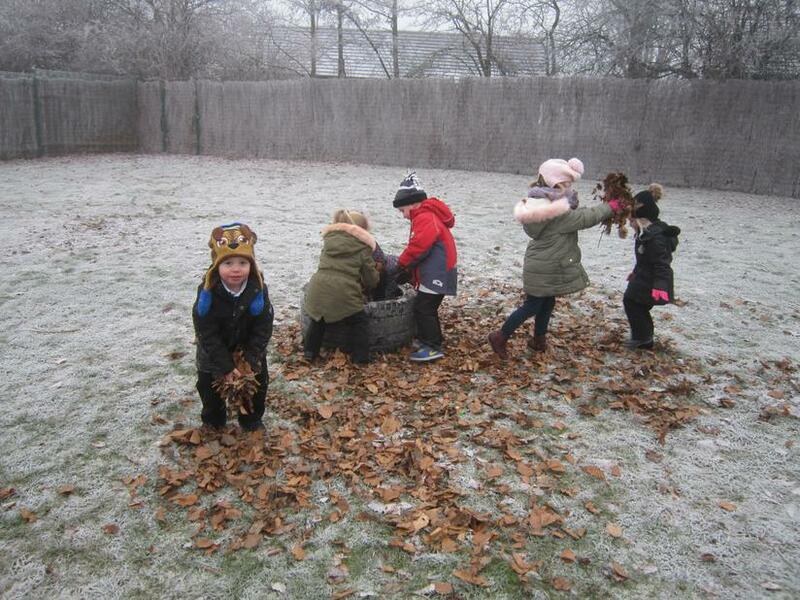 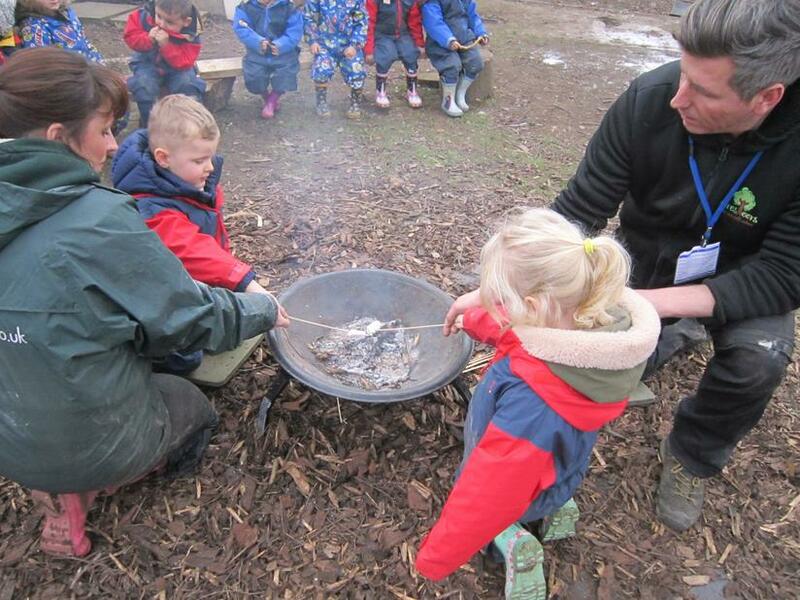 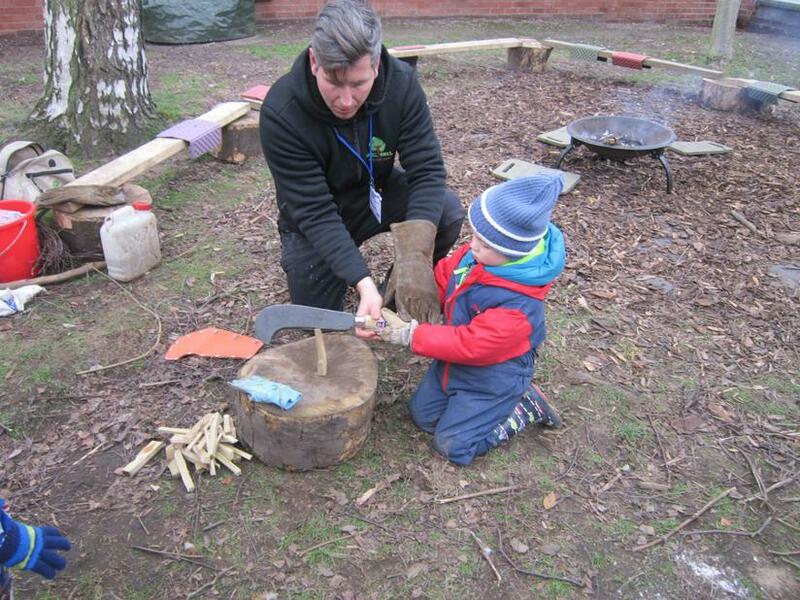 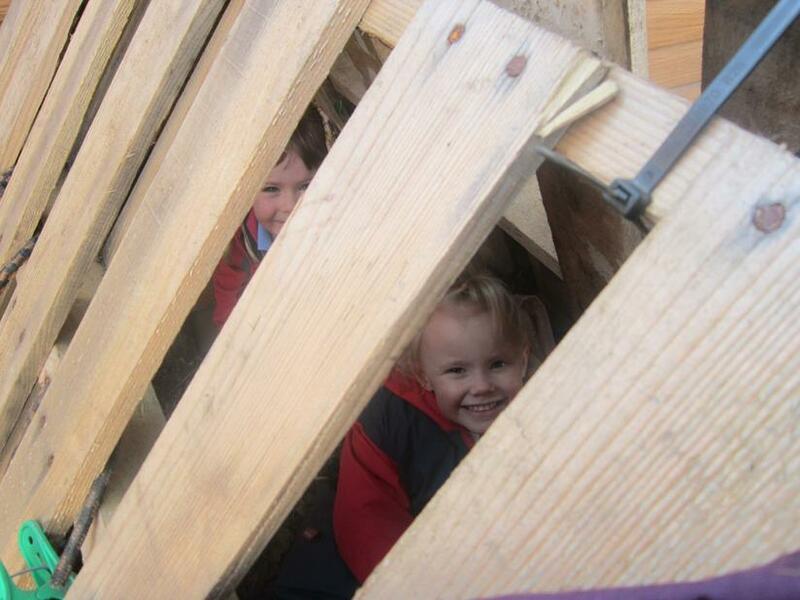 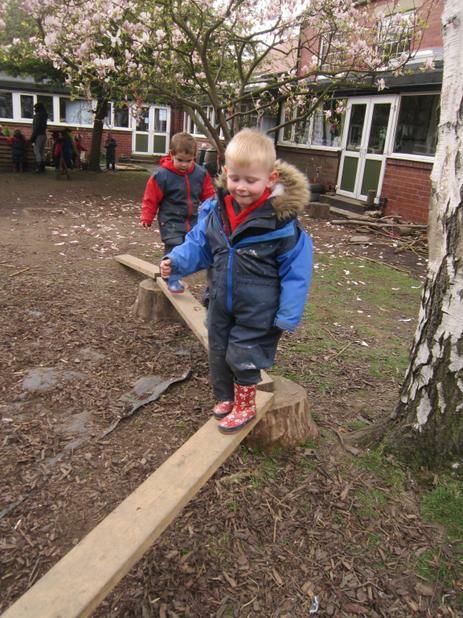 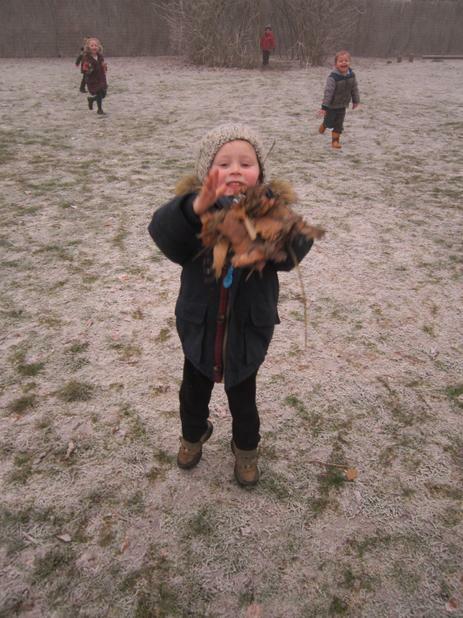 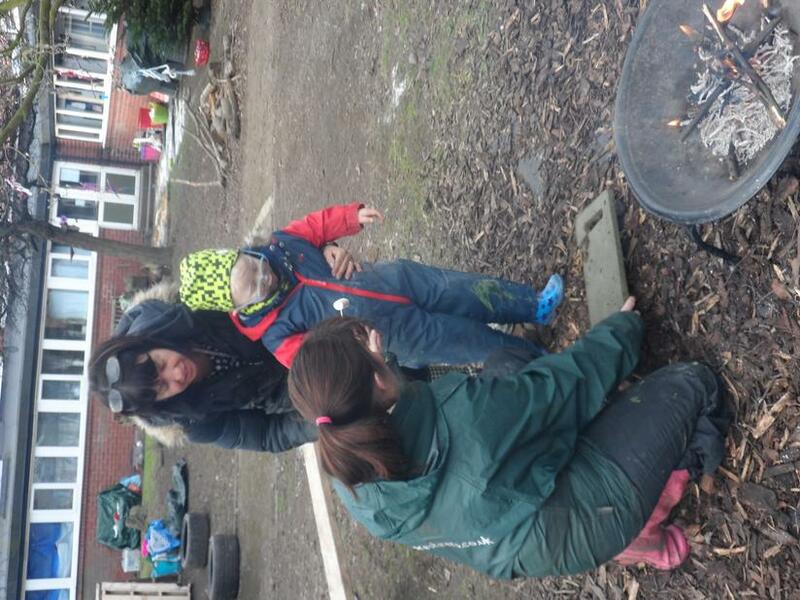 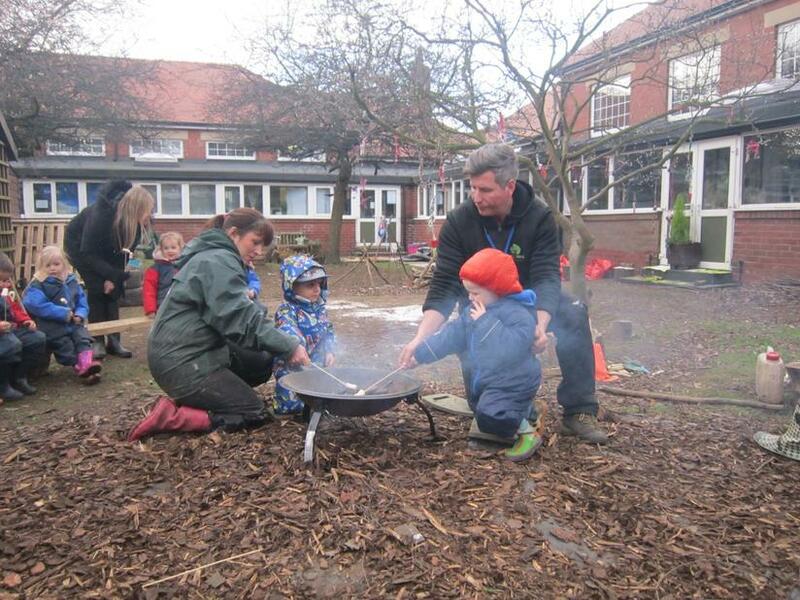 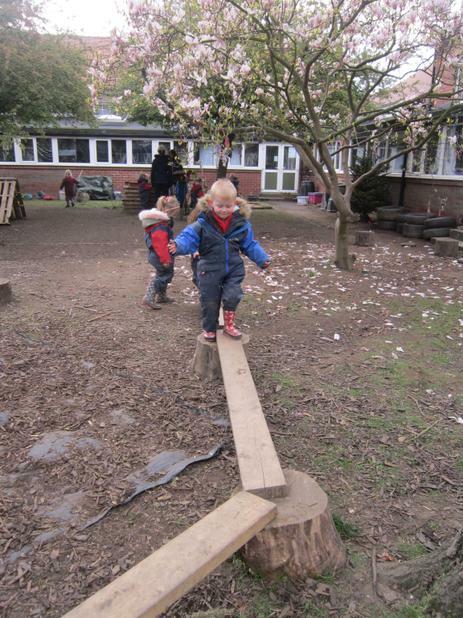 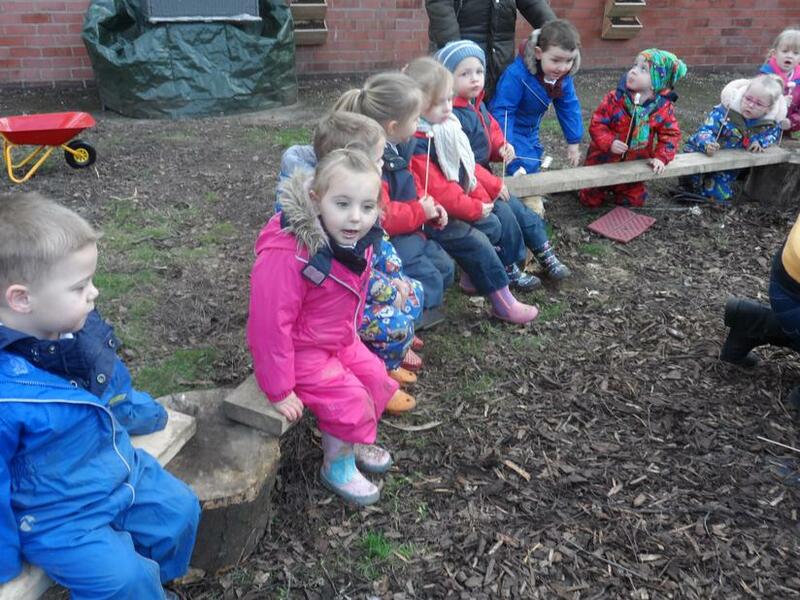 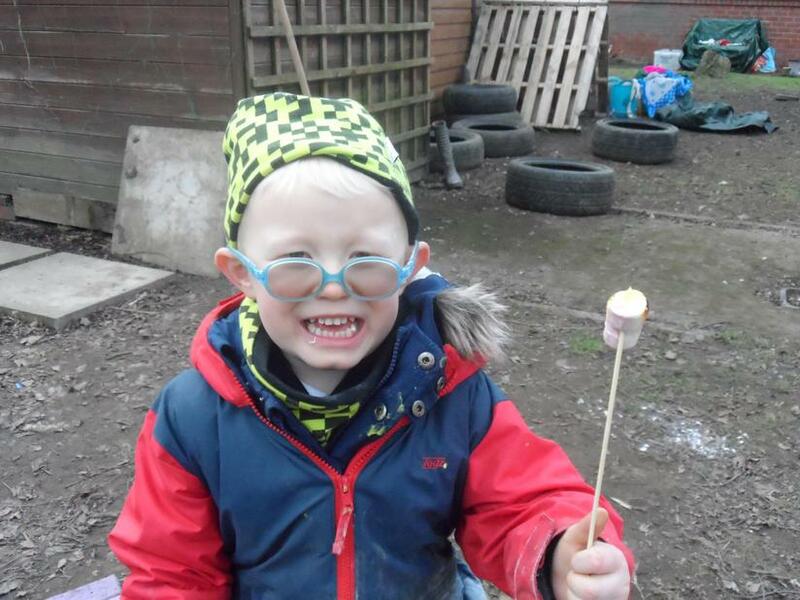 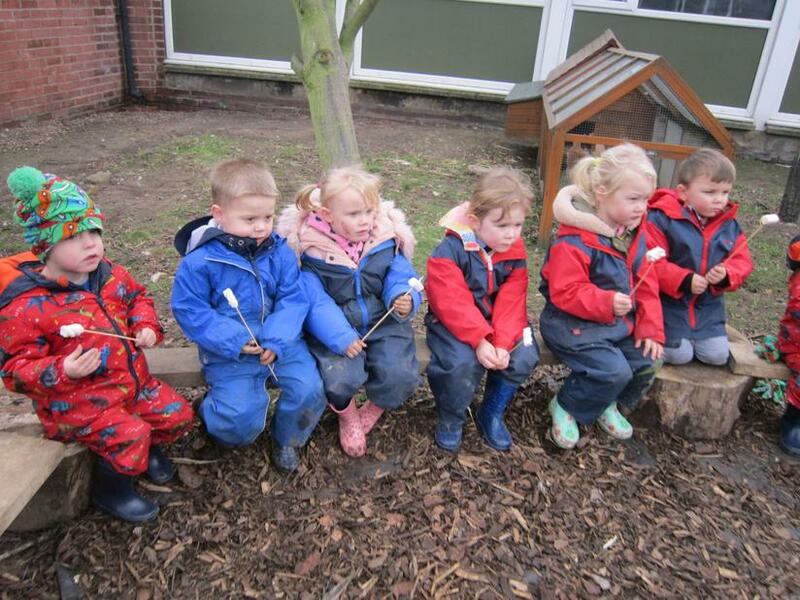 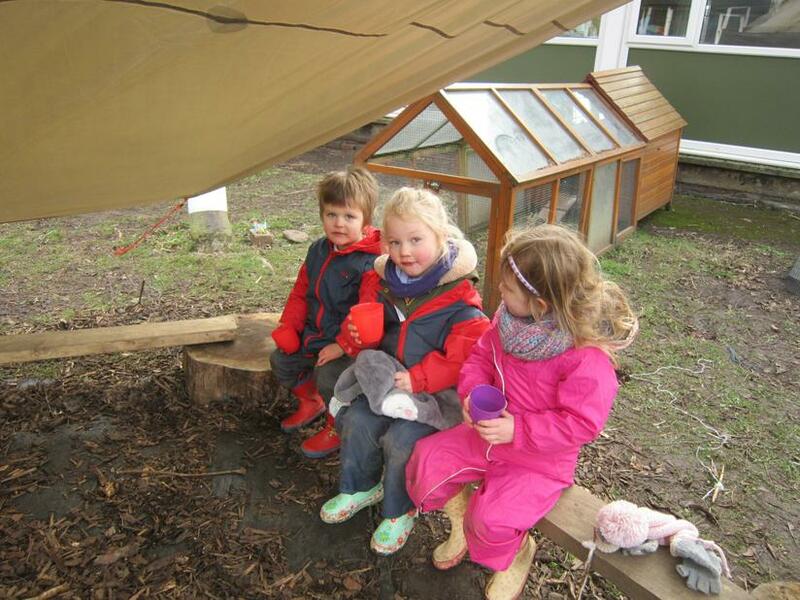 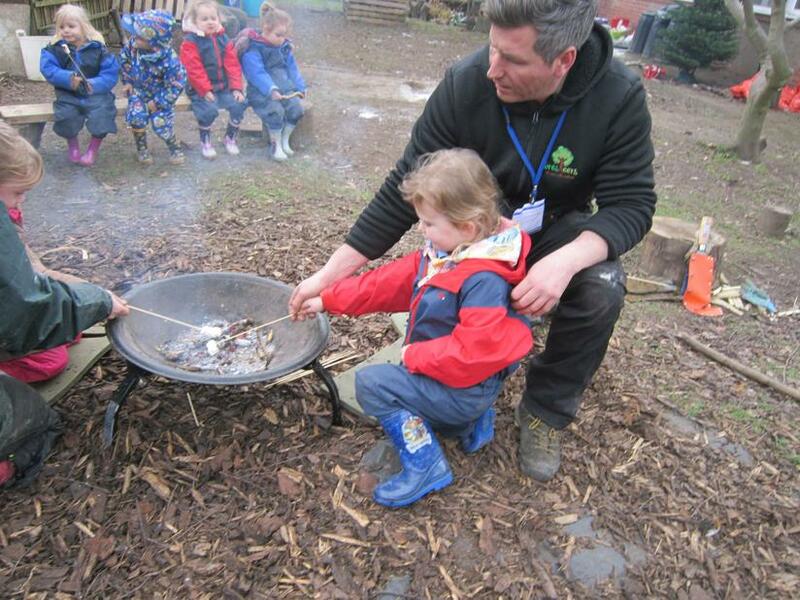 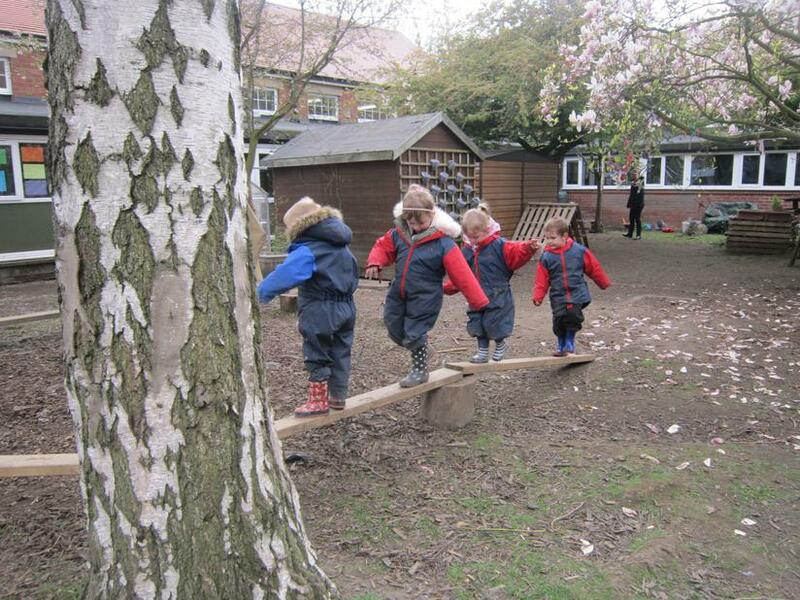 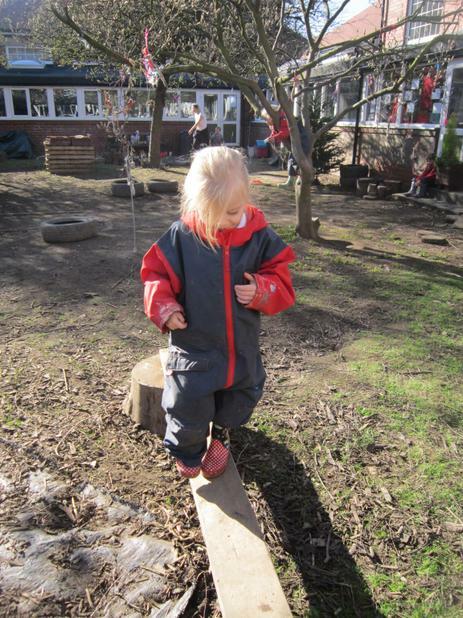 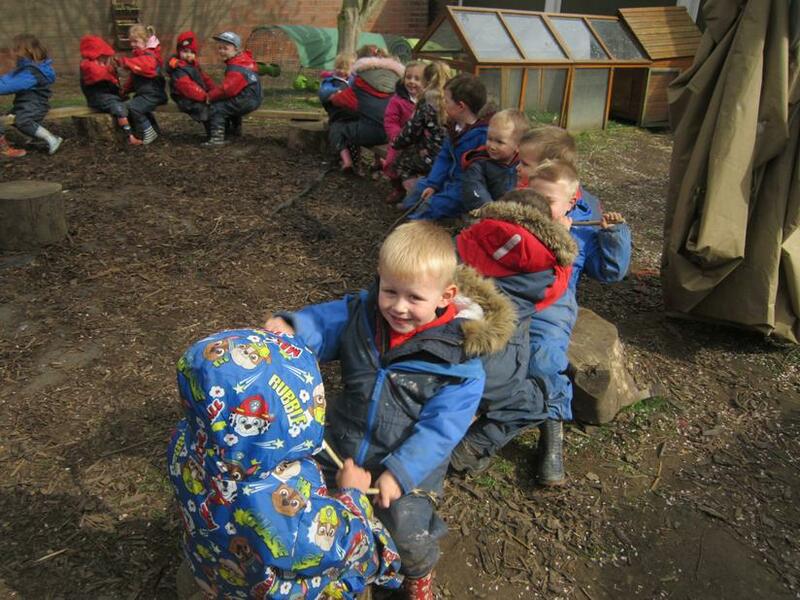 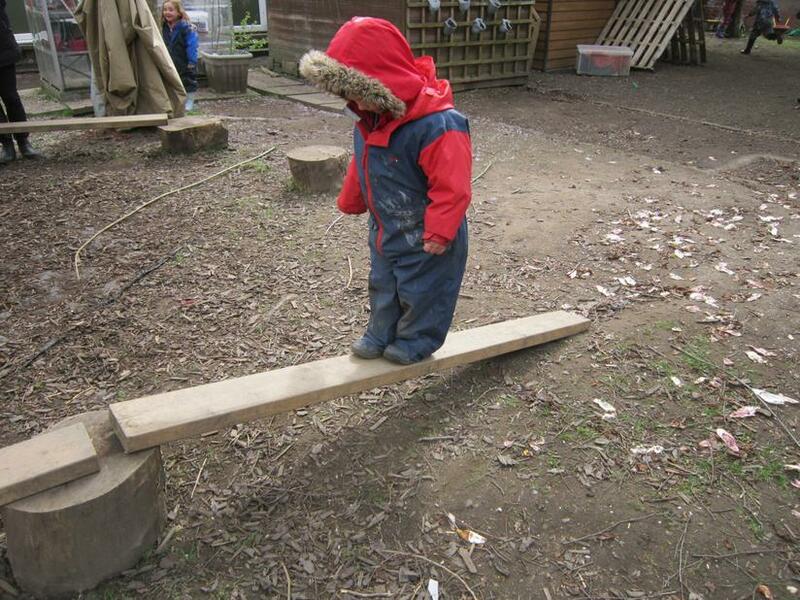 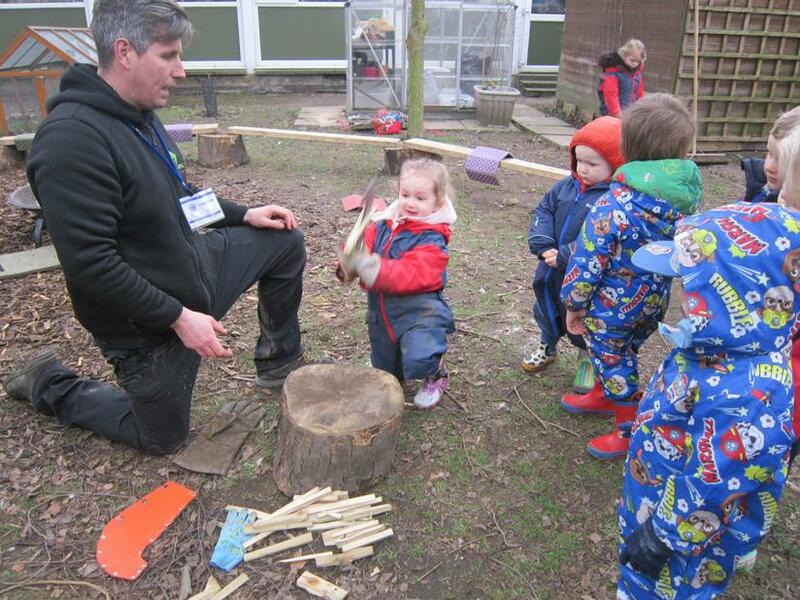 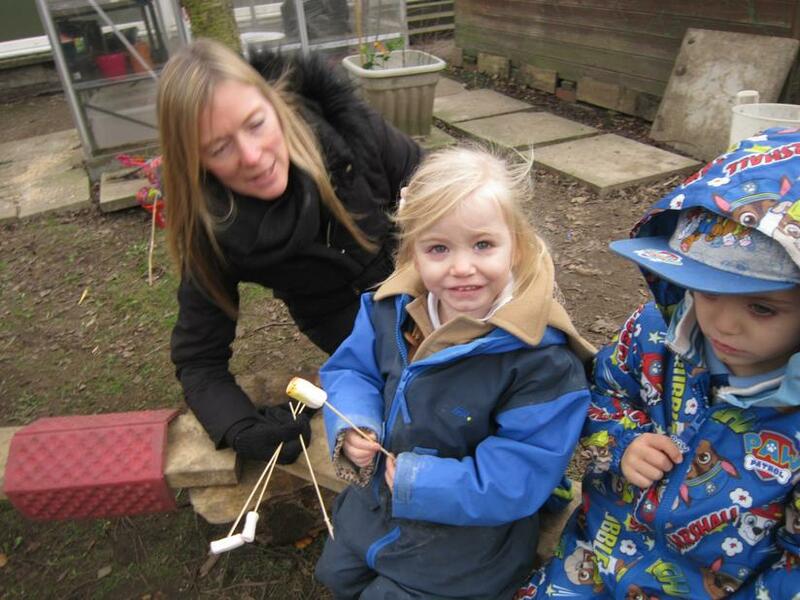 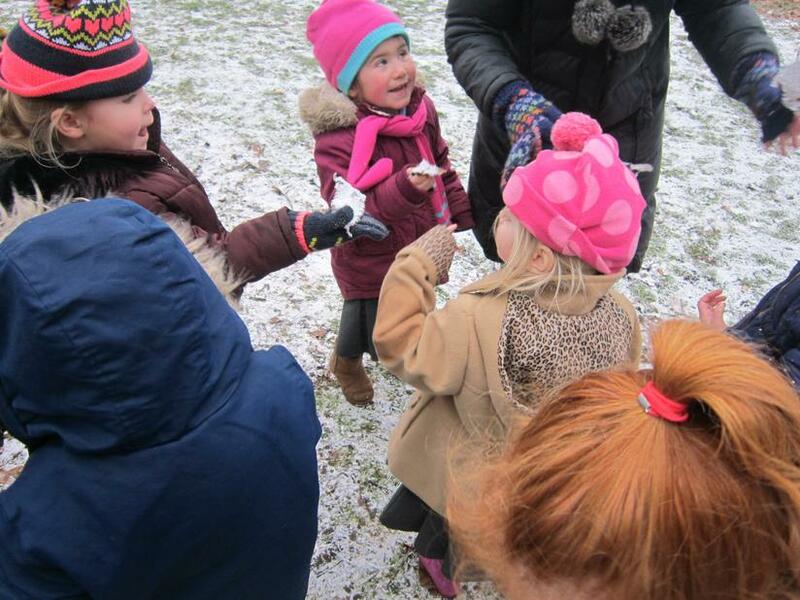 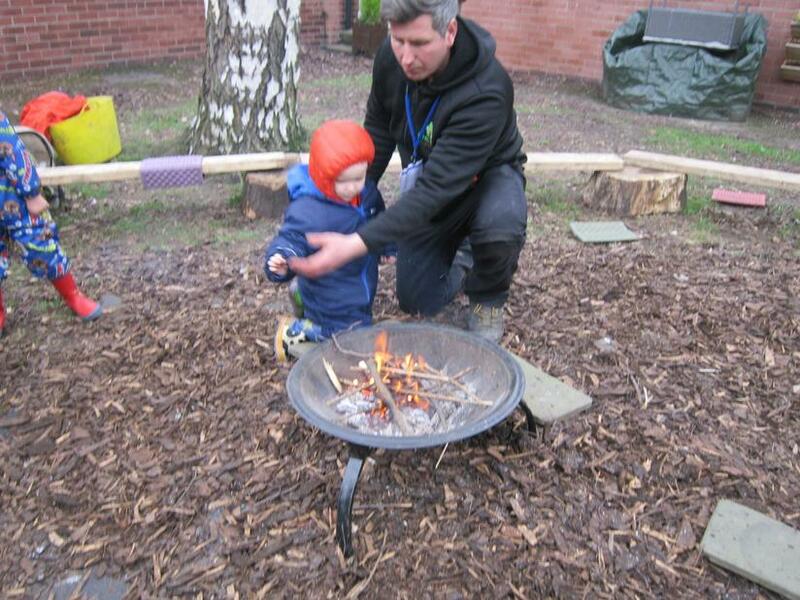 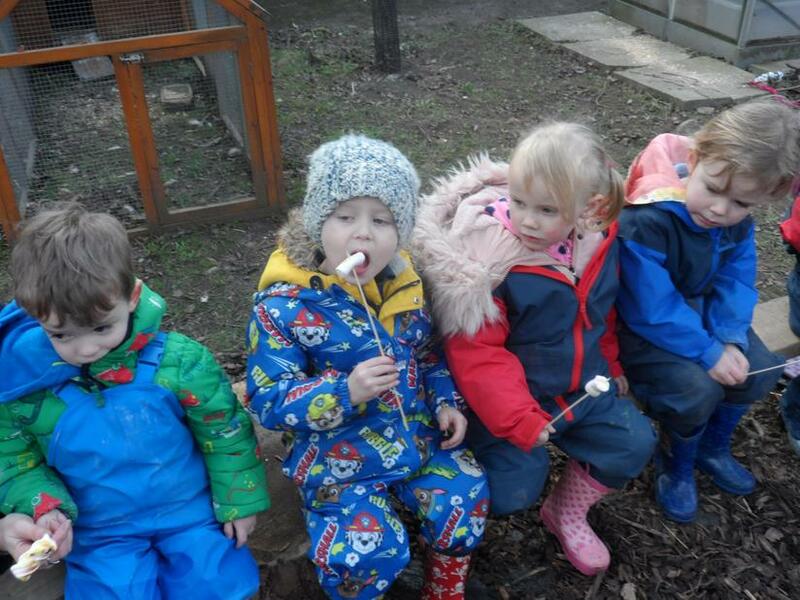 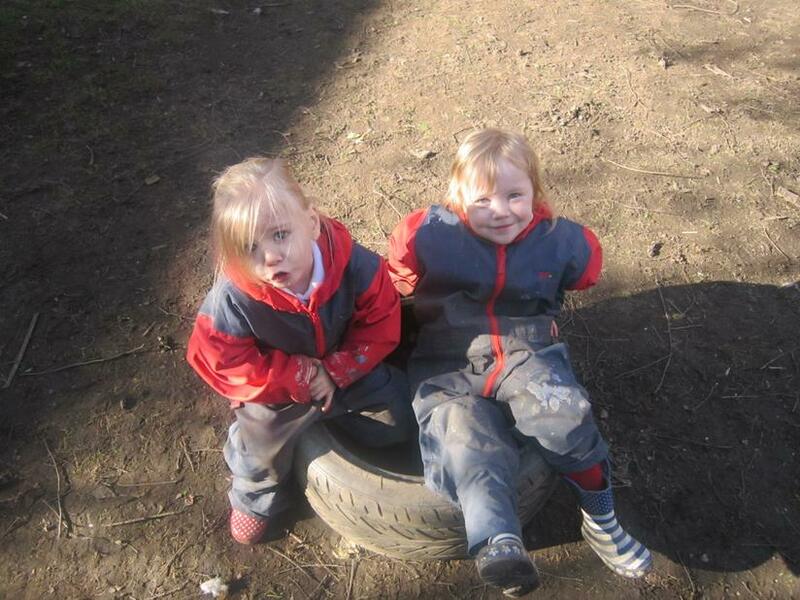 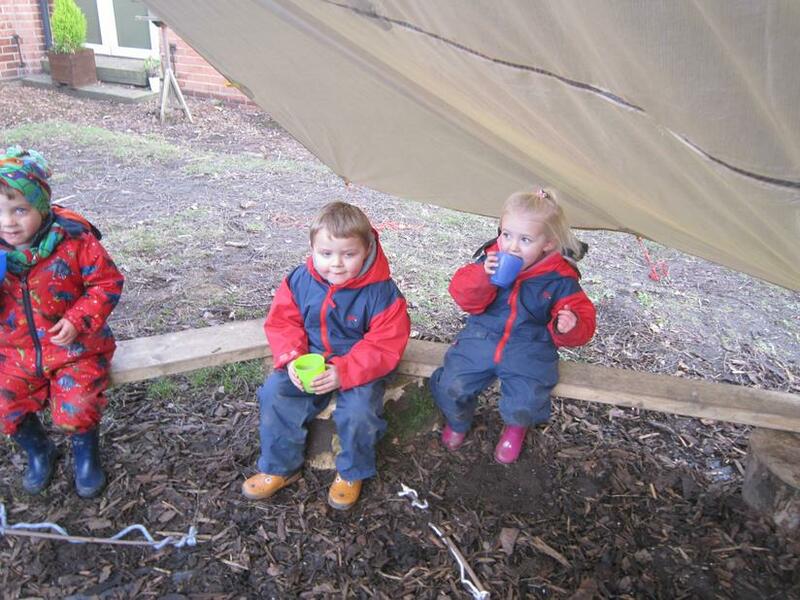 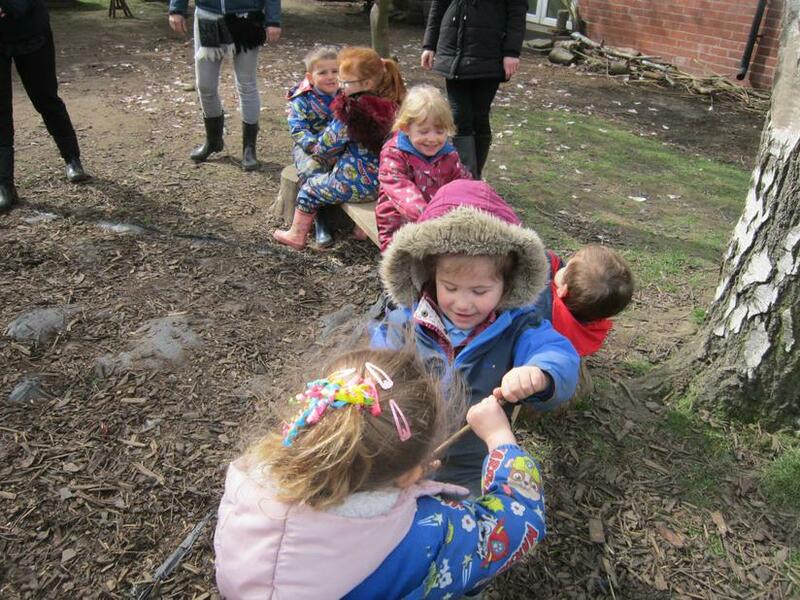 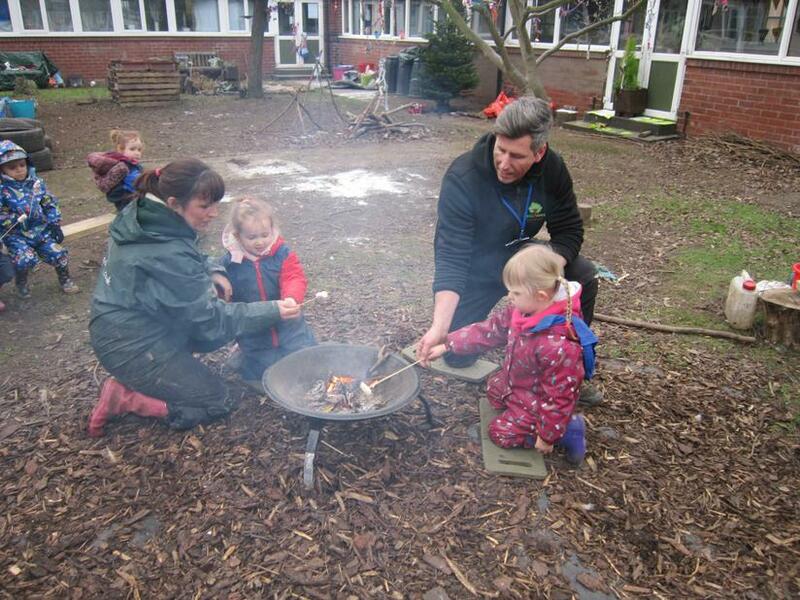 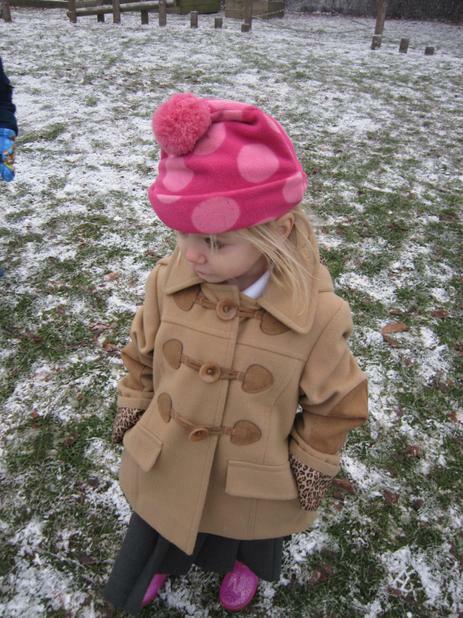 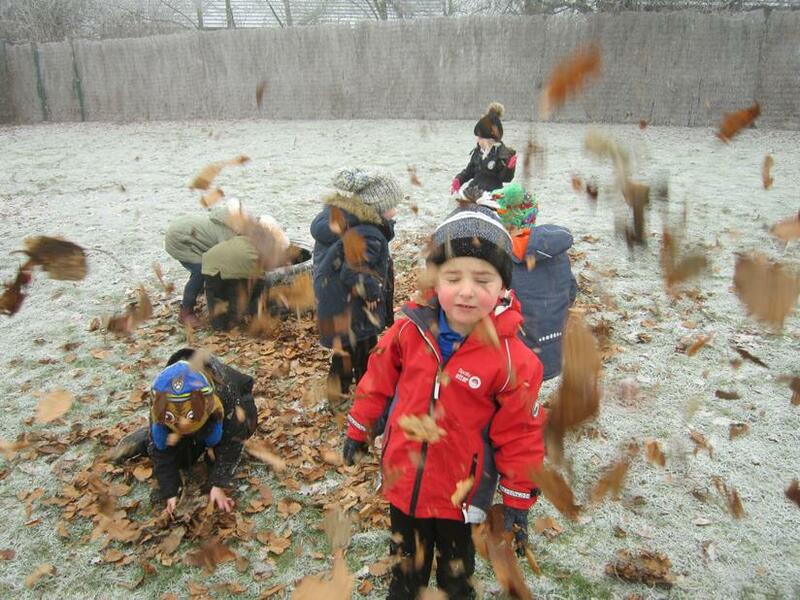 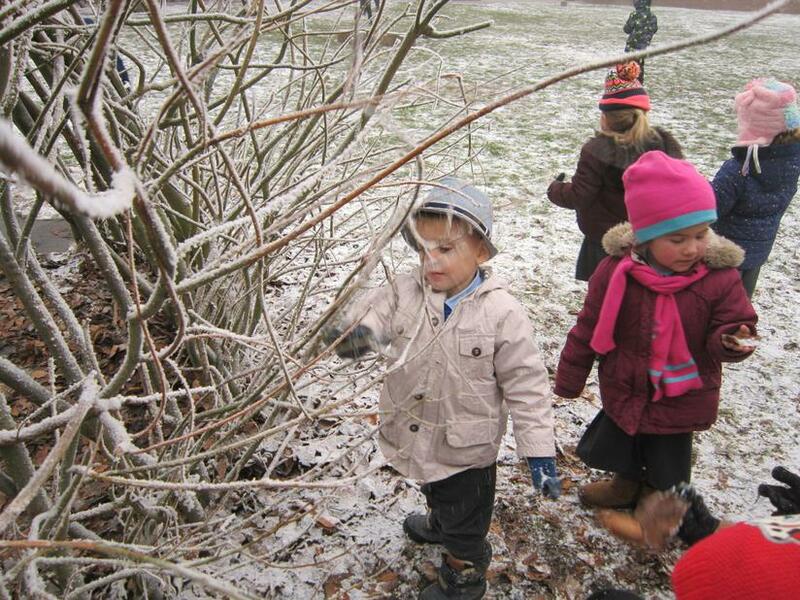 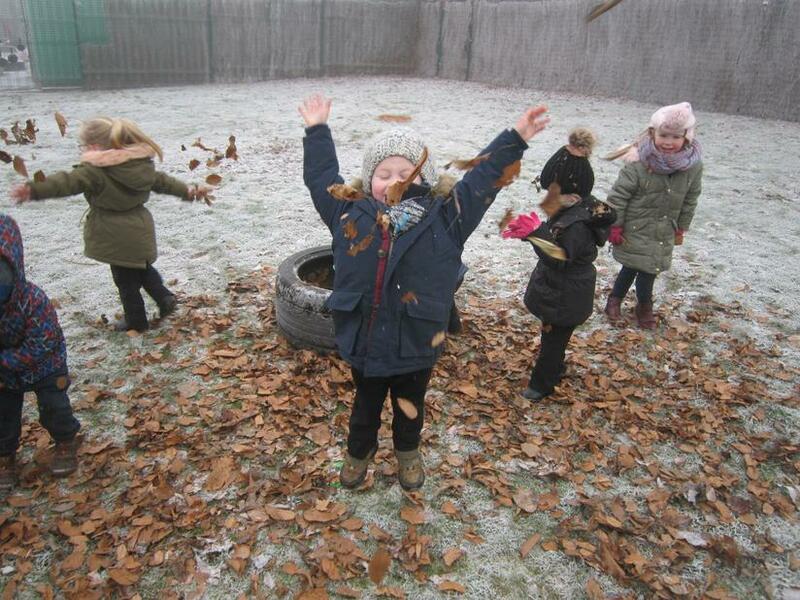 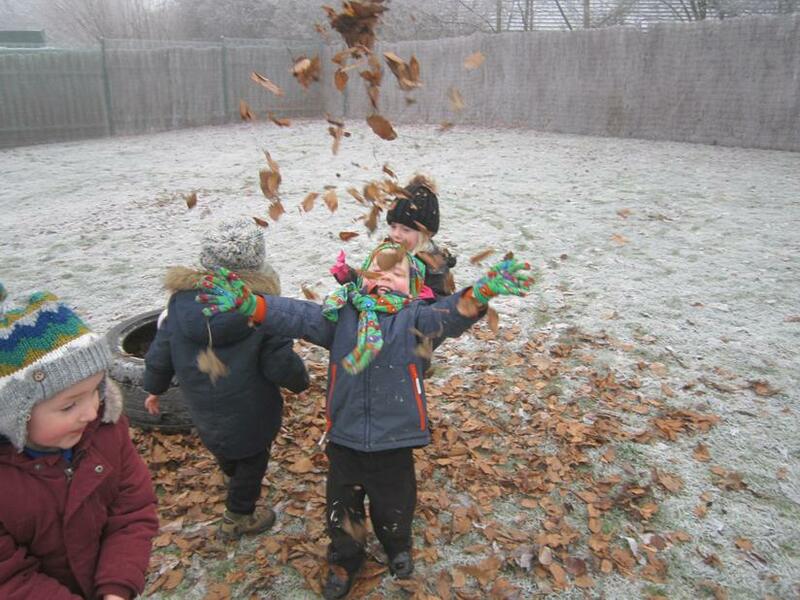 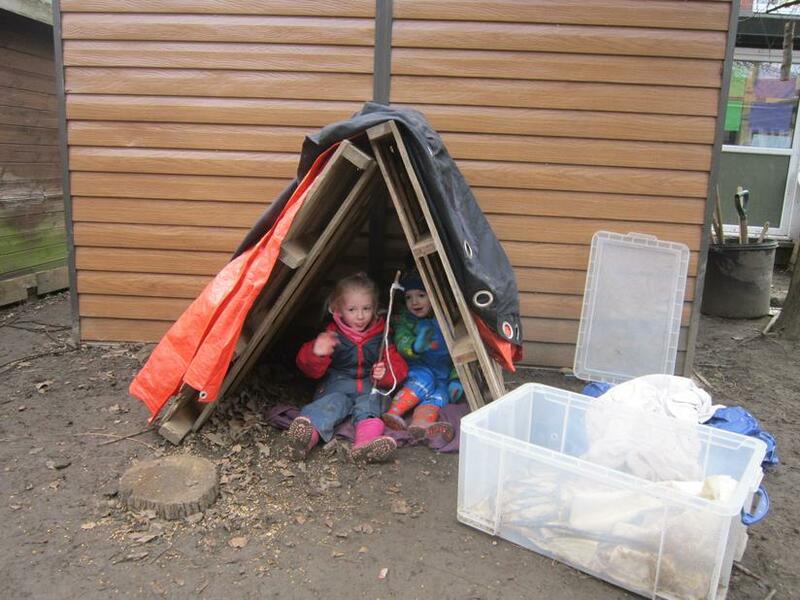 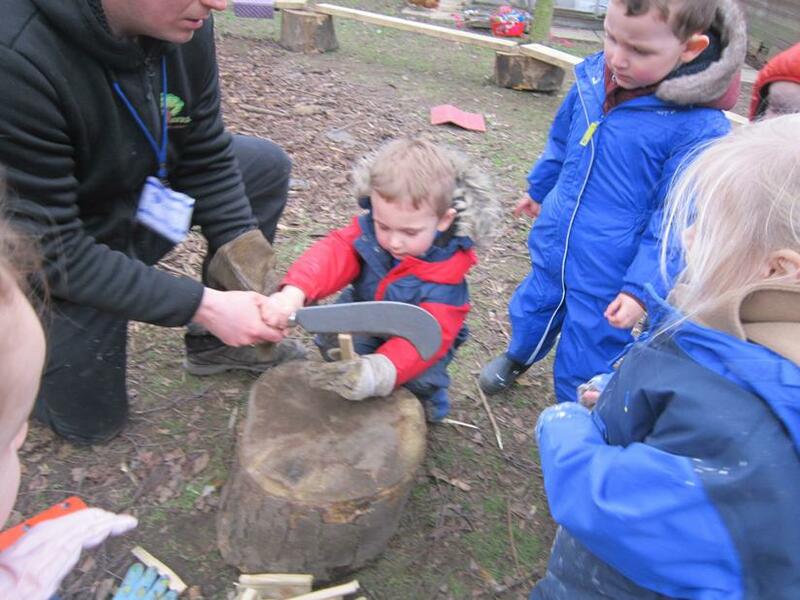 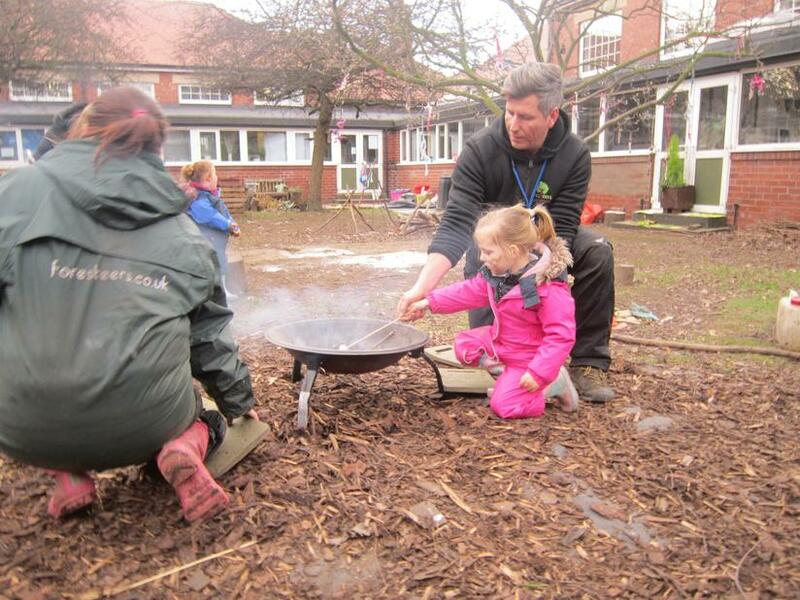 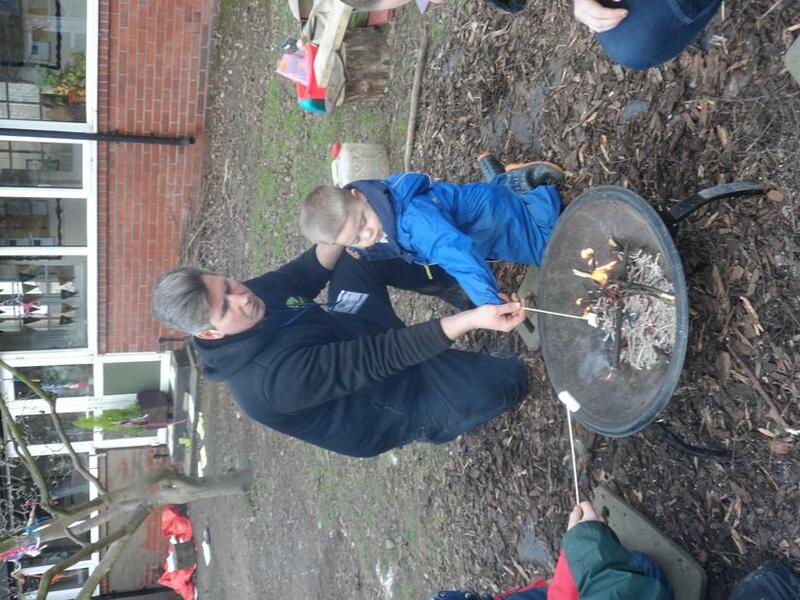 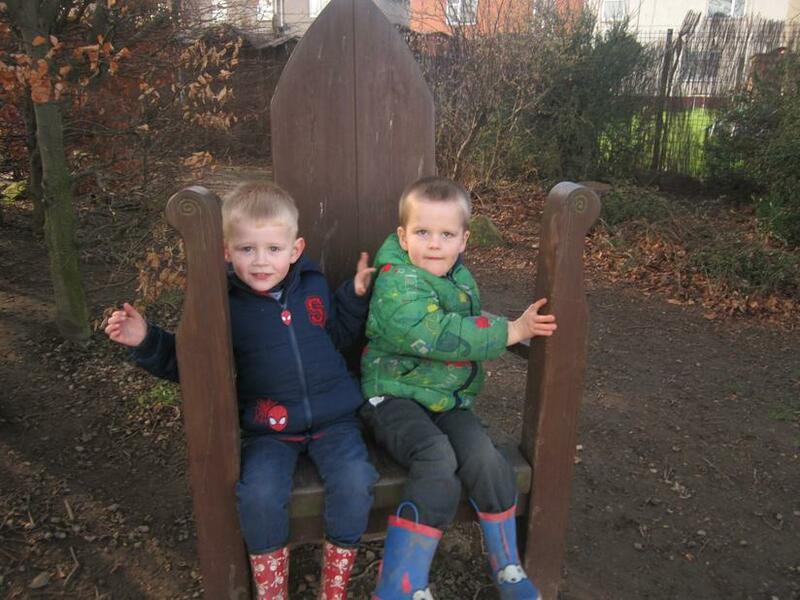 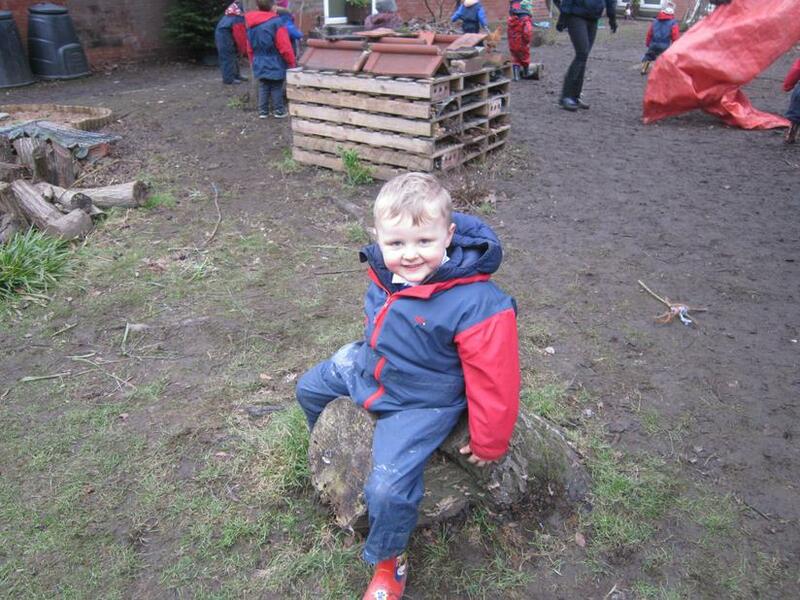 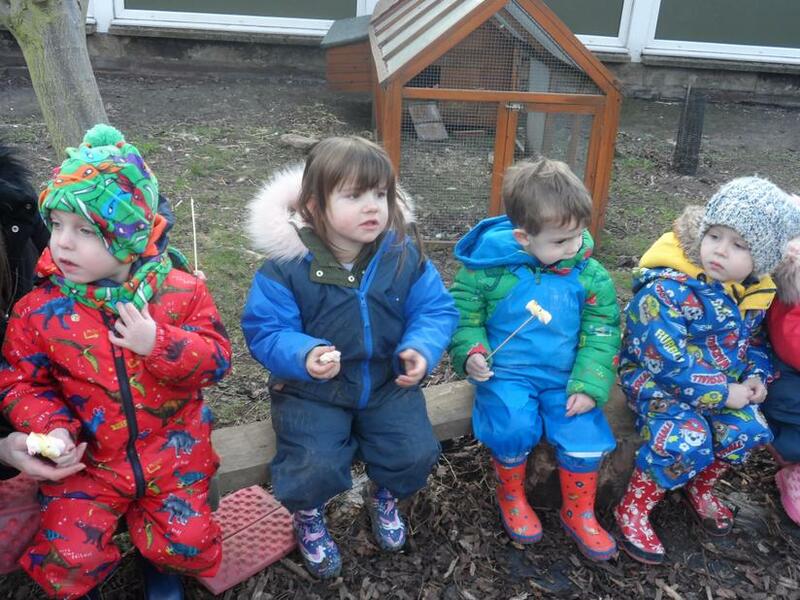 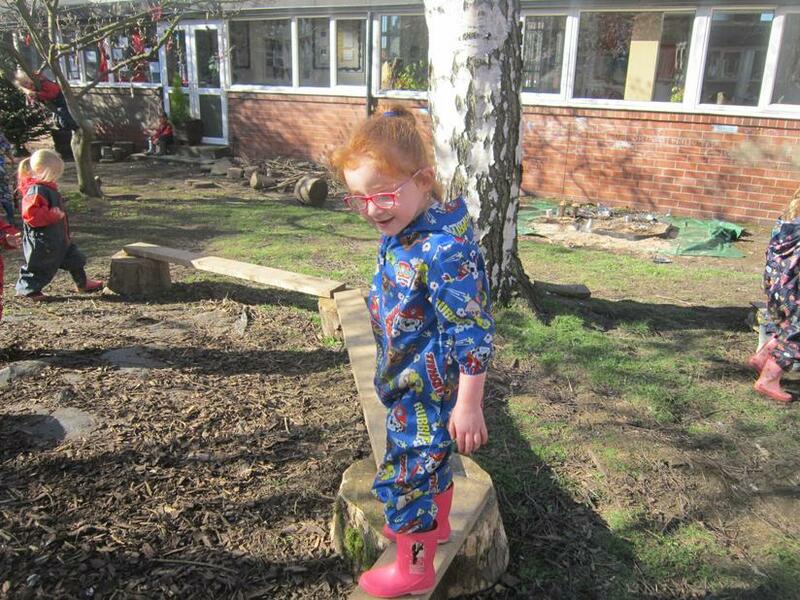 Another fantastic day in forest school. 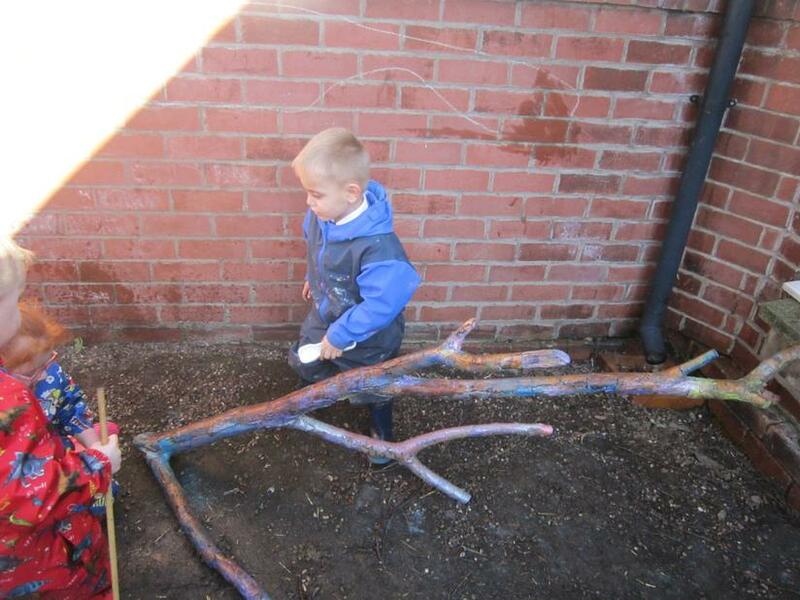 We painted a giant log then scrubbed it clean. 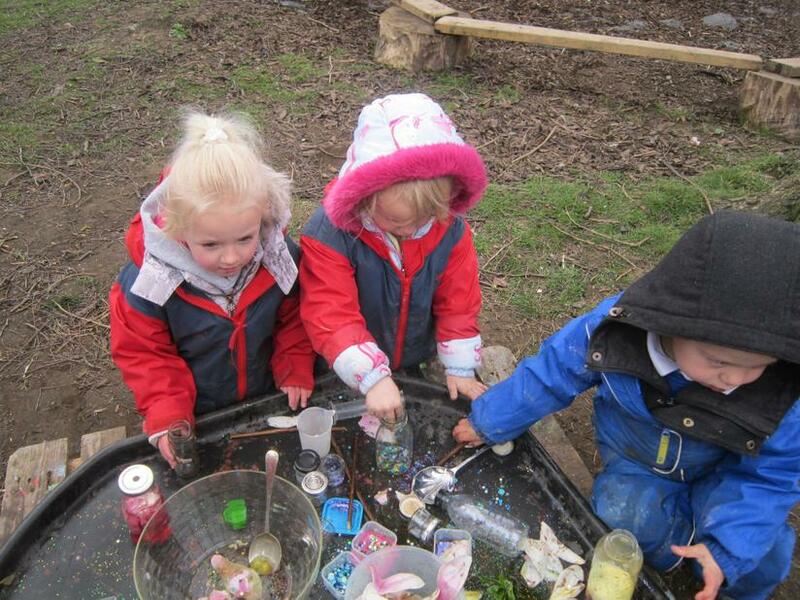 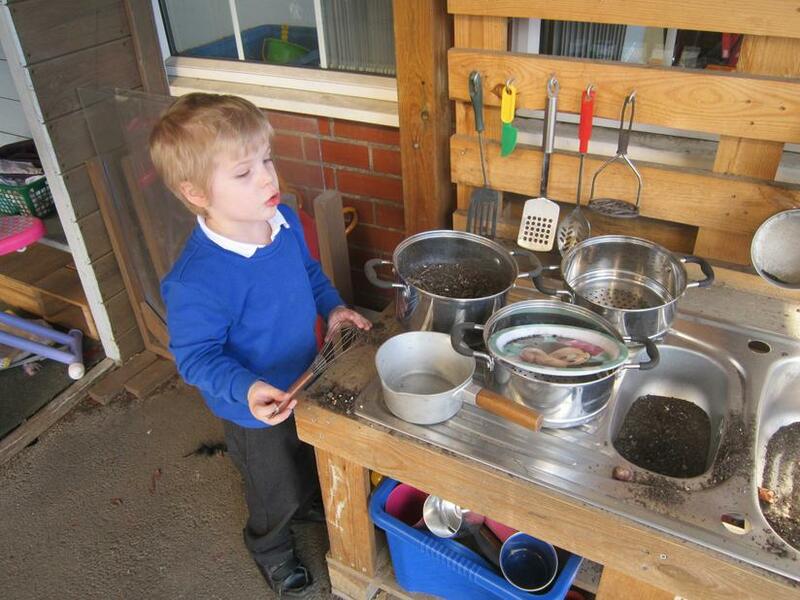 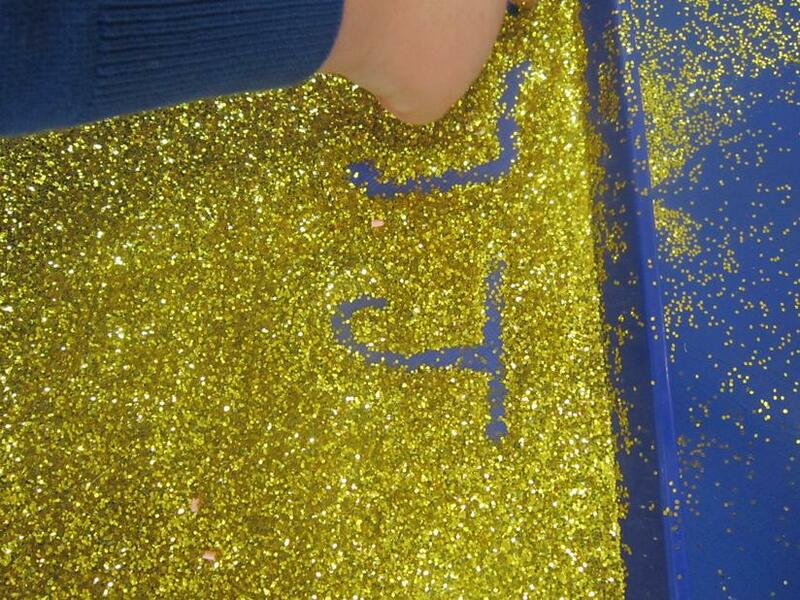 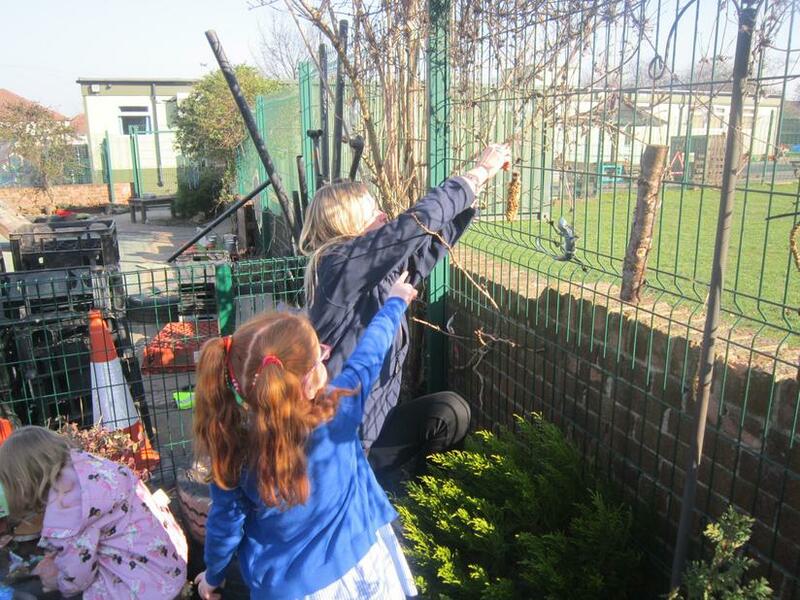 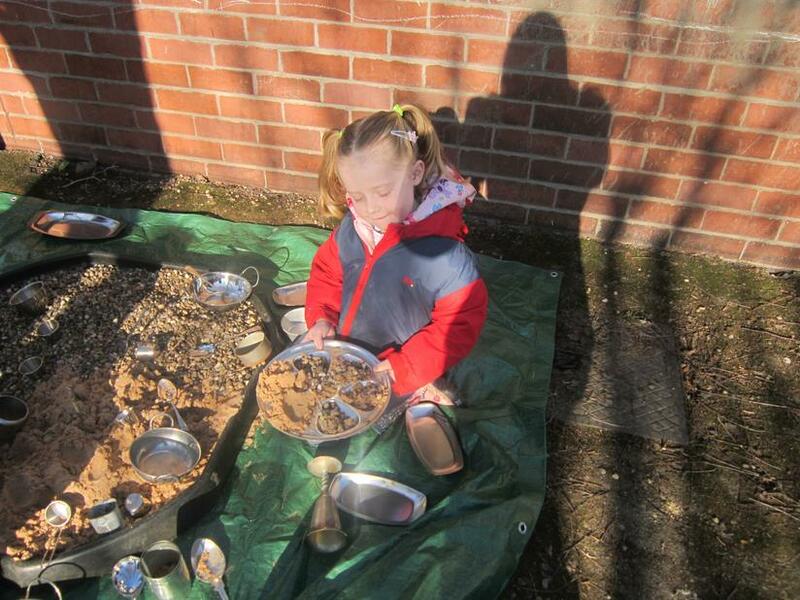 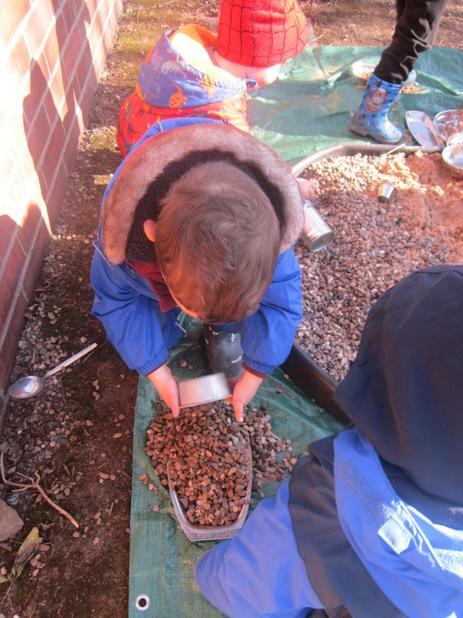 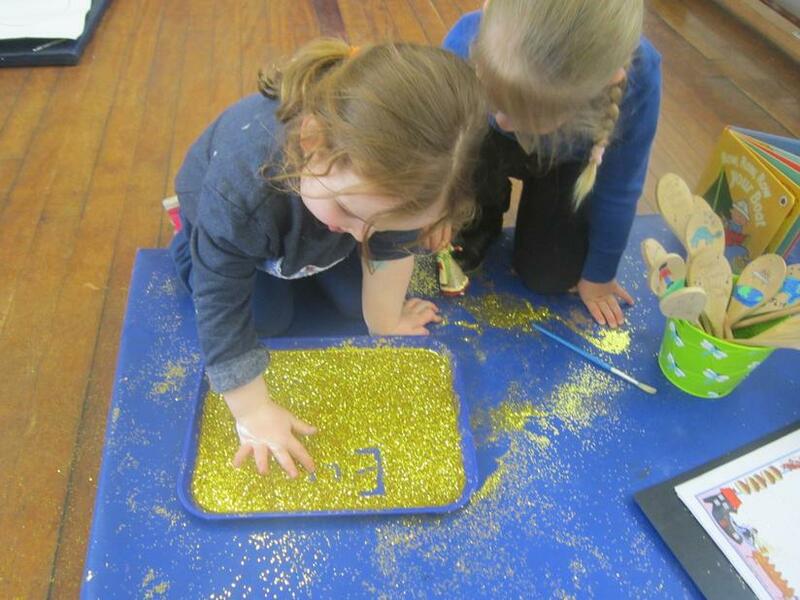 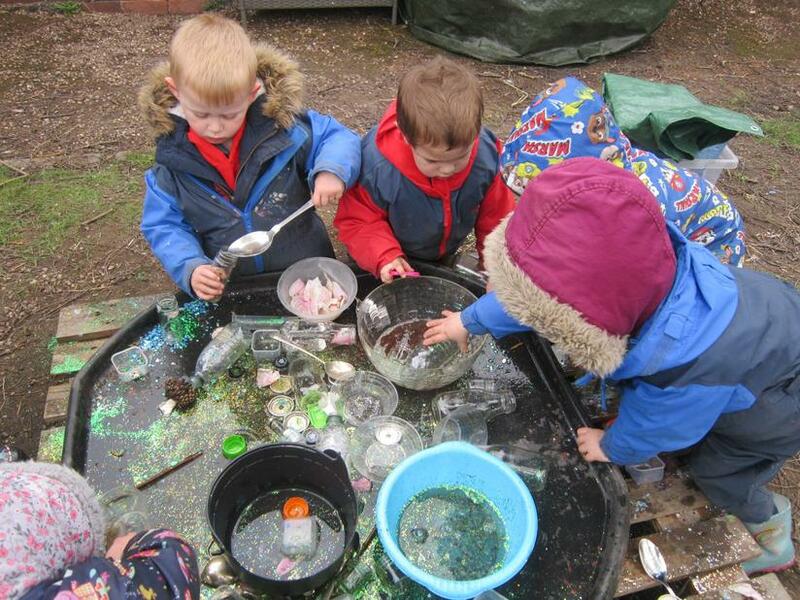 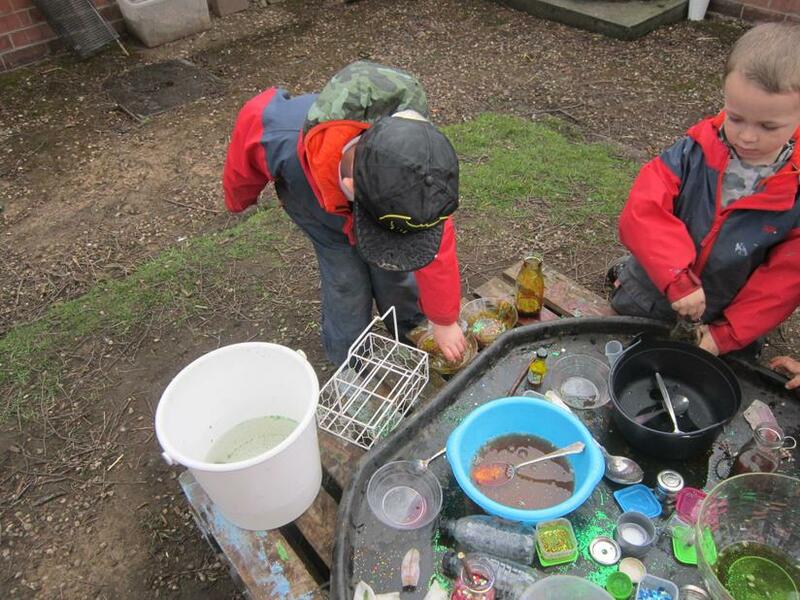 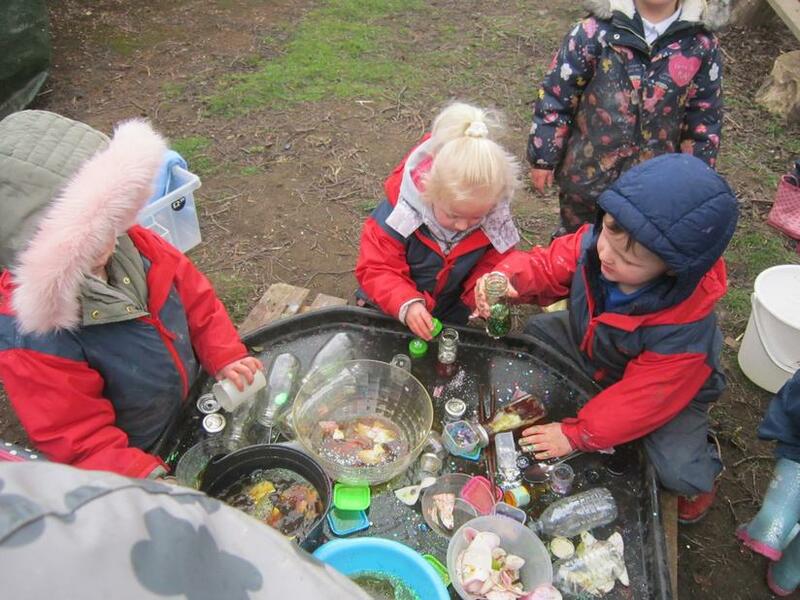 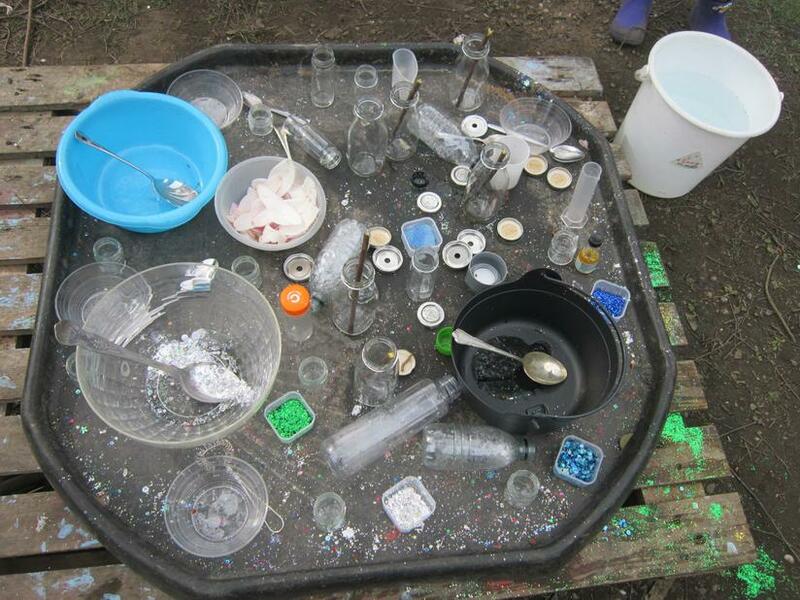 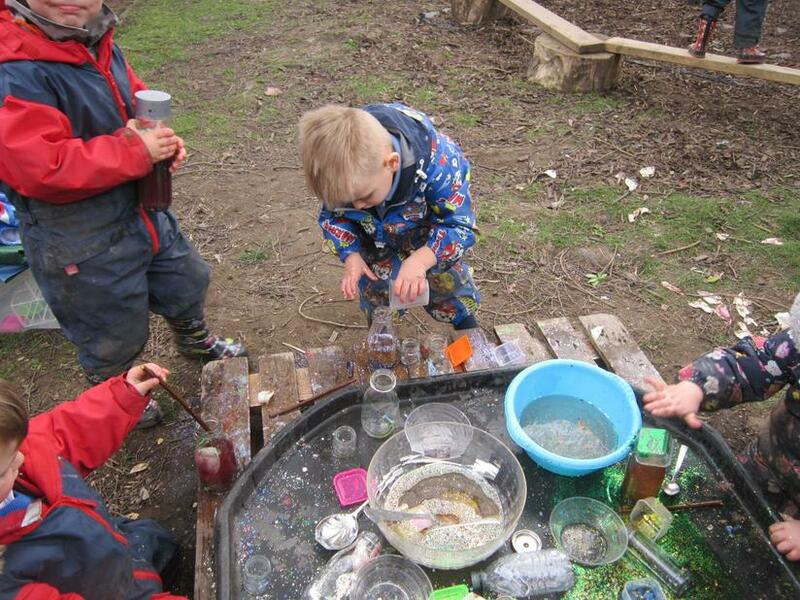 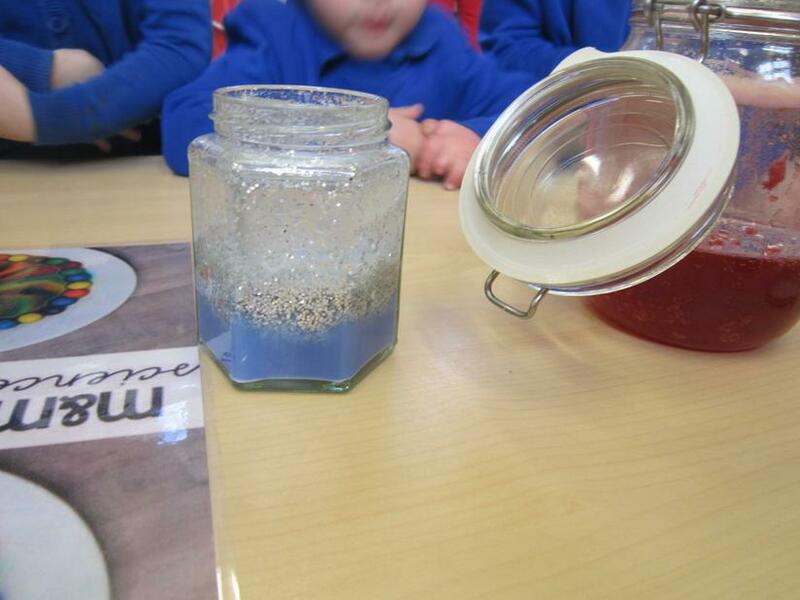 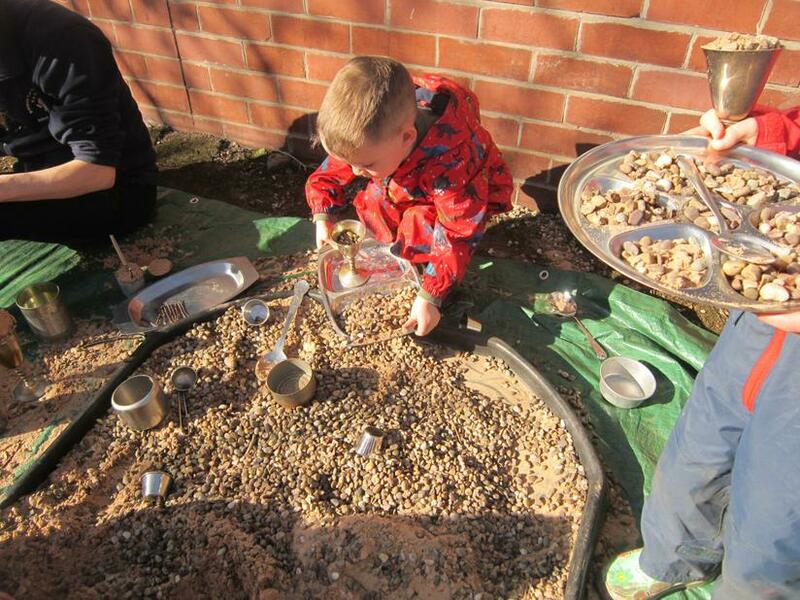 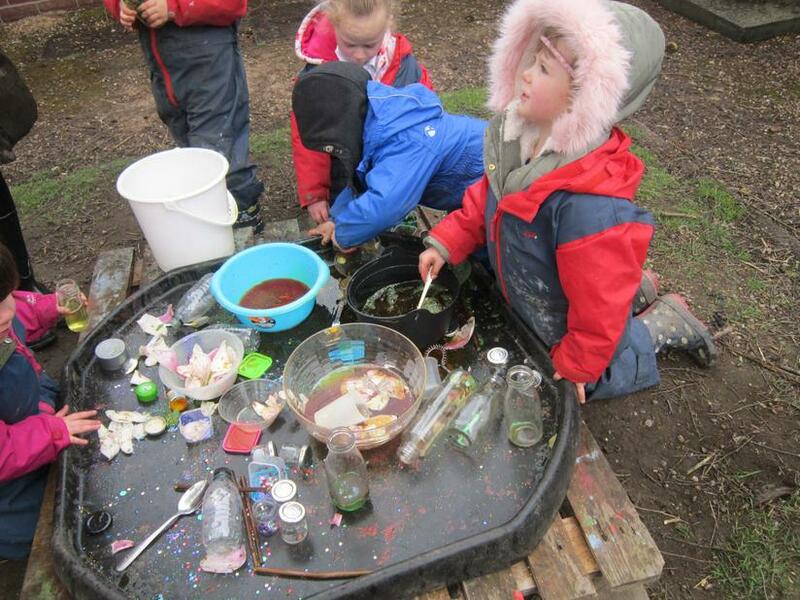 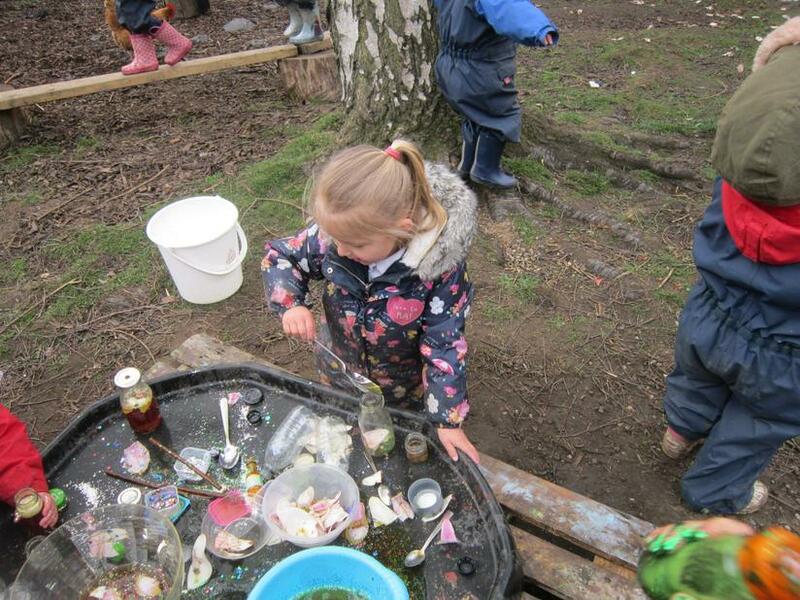 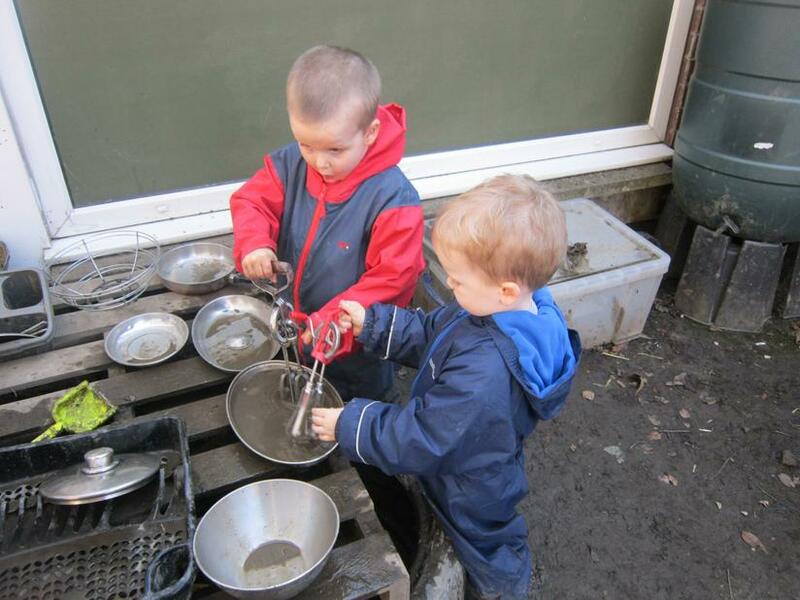 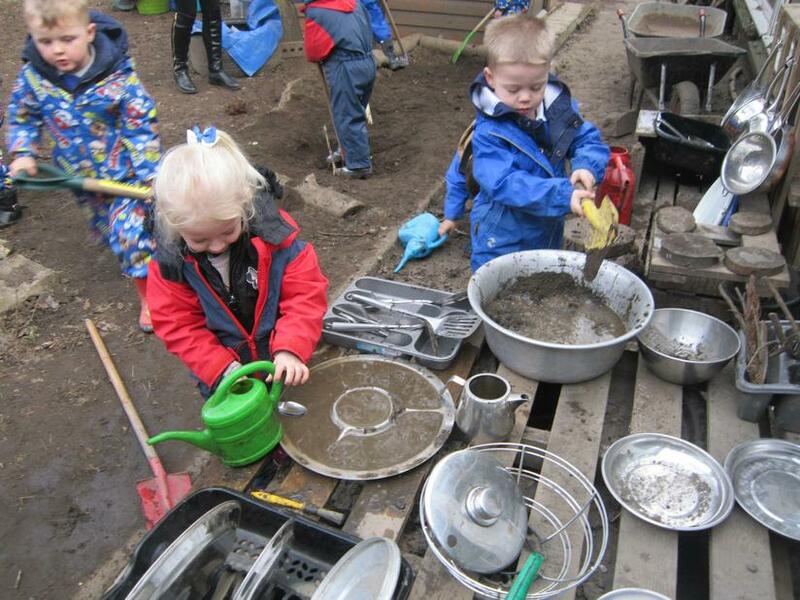 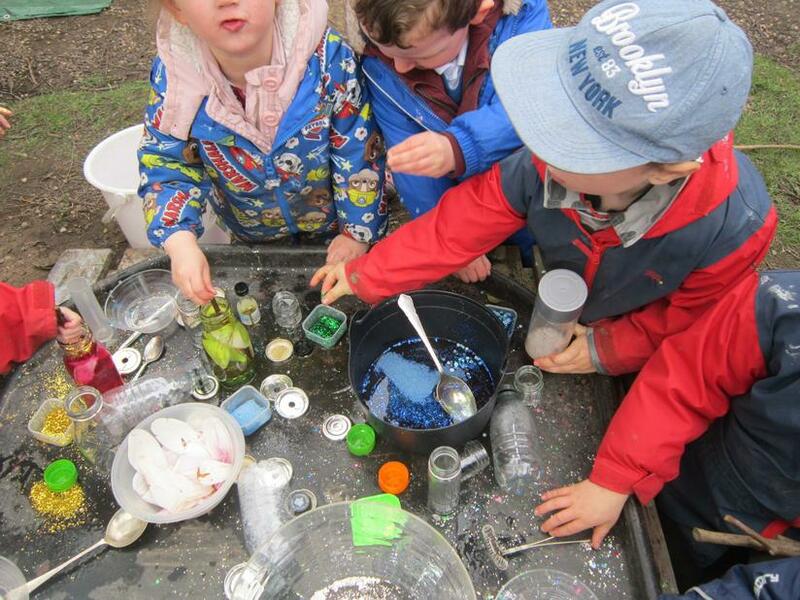 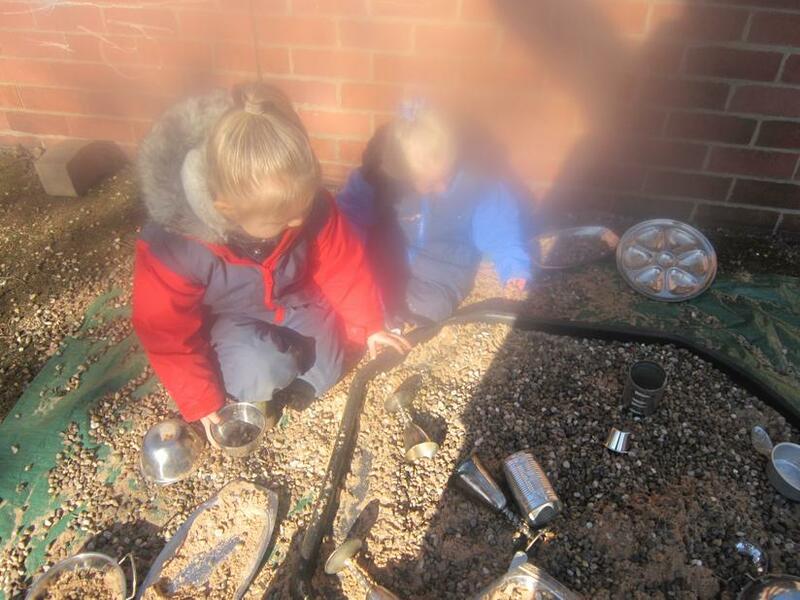 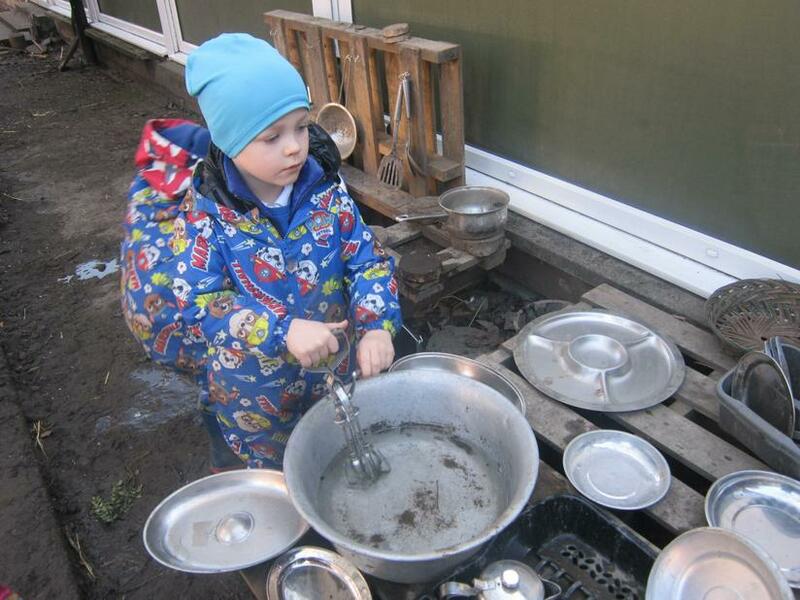 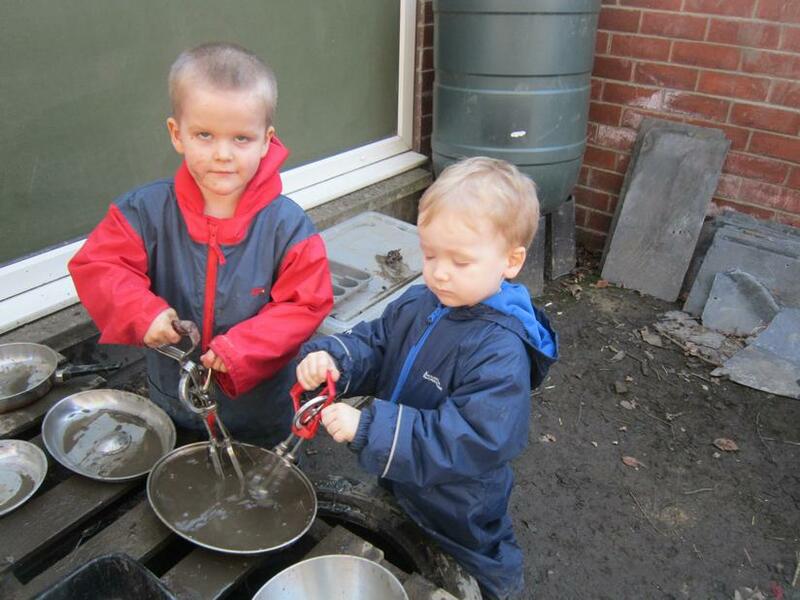 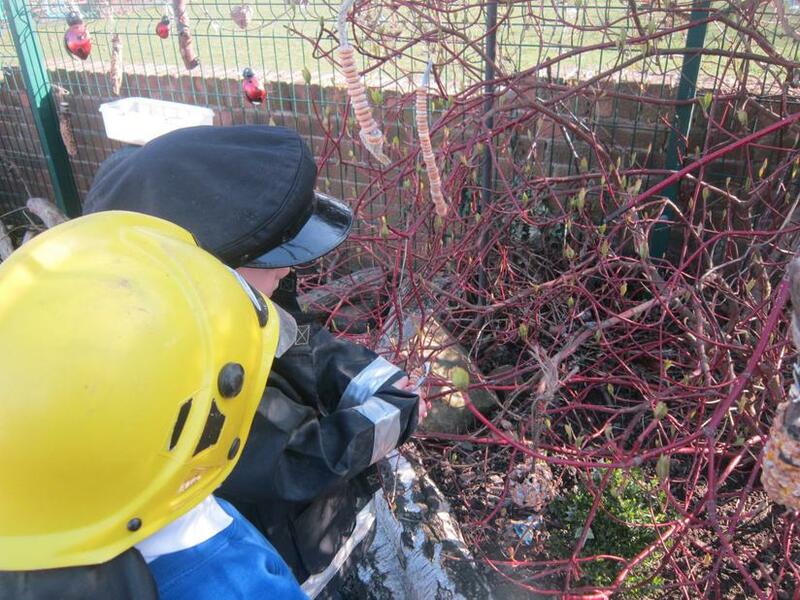 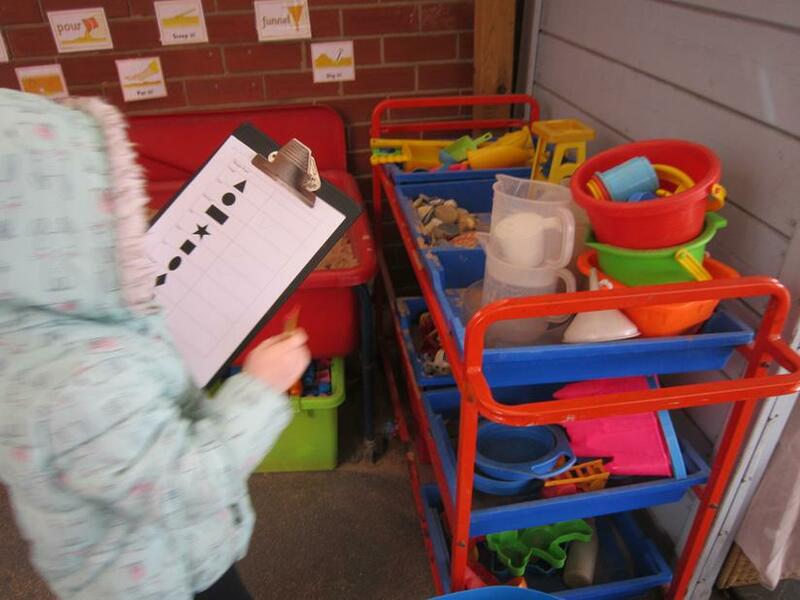 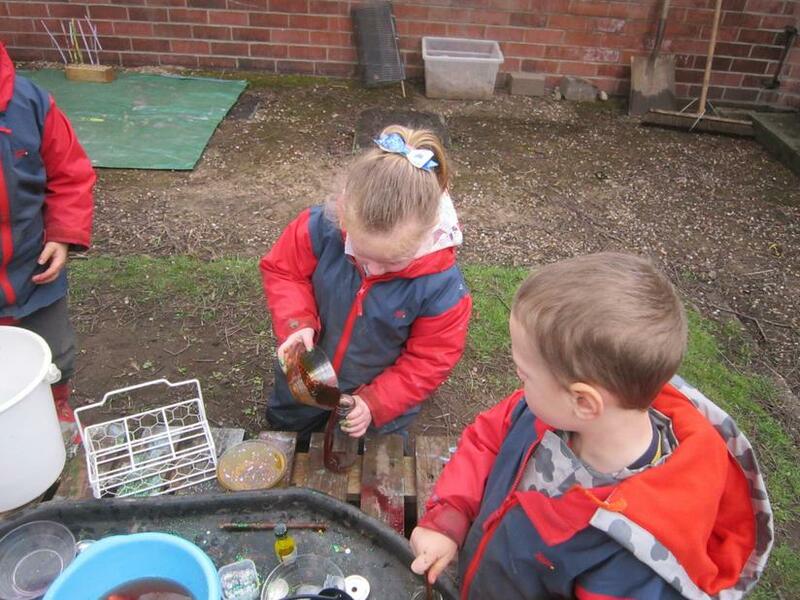 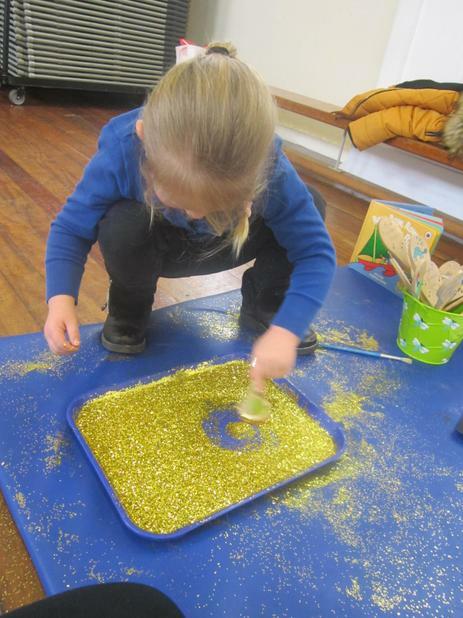 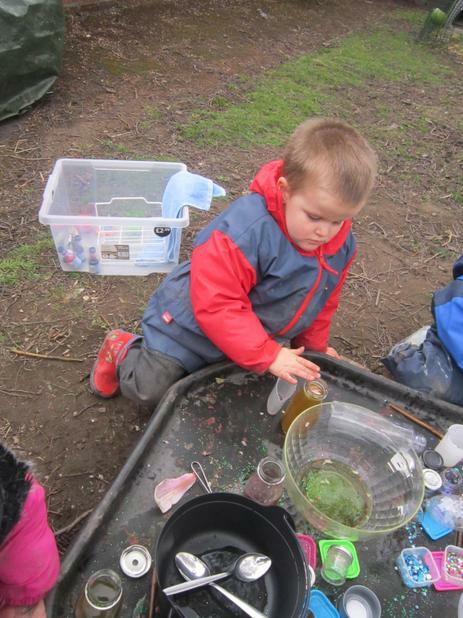 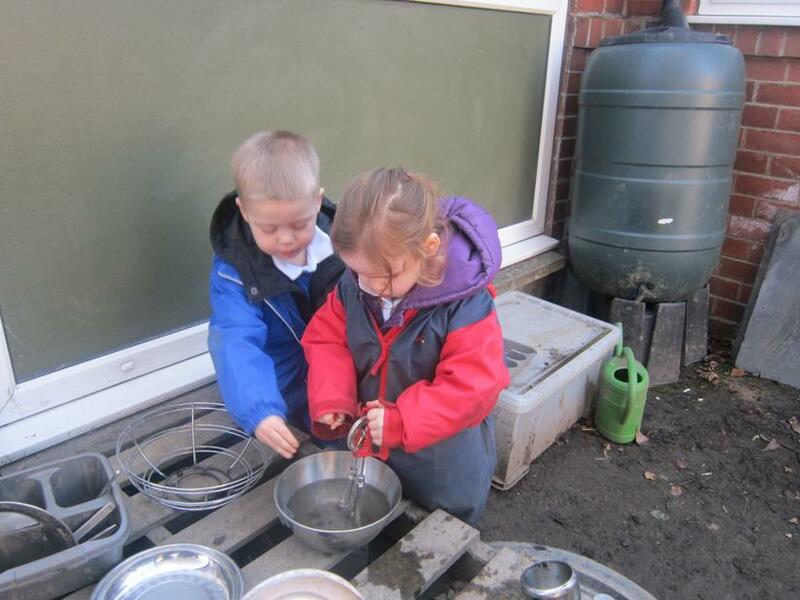 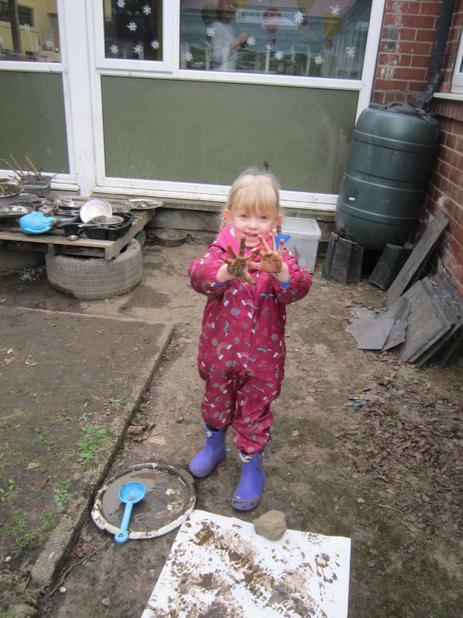 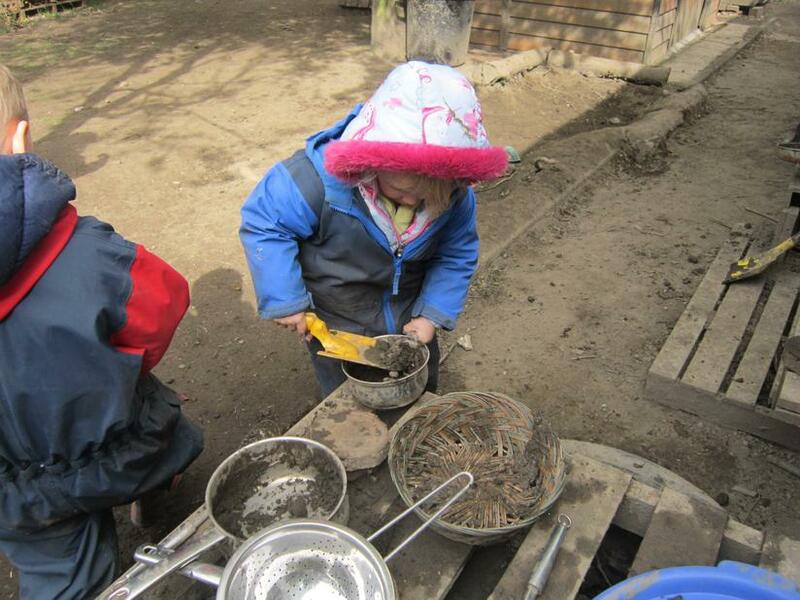 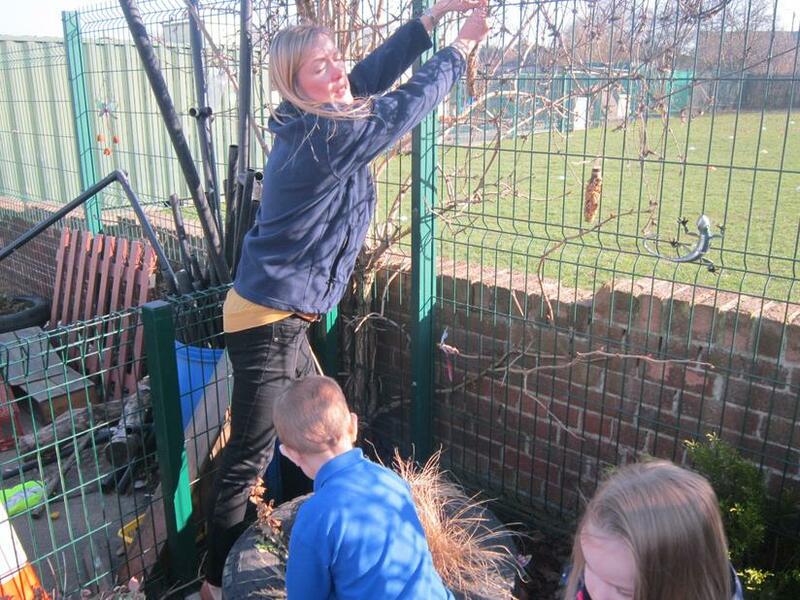 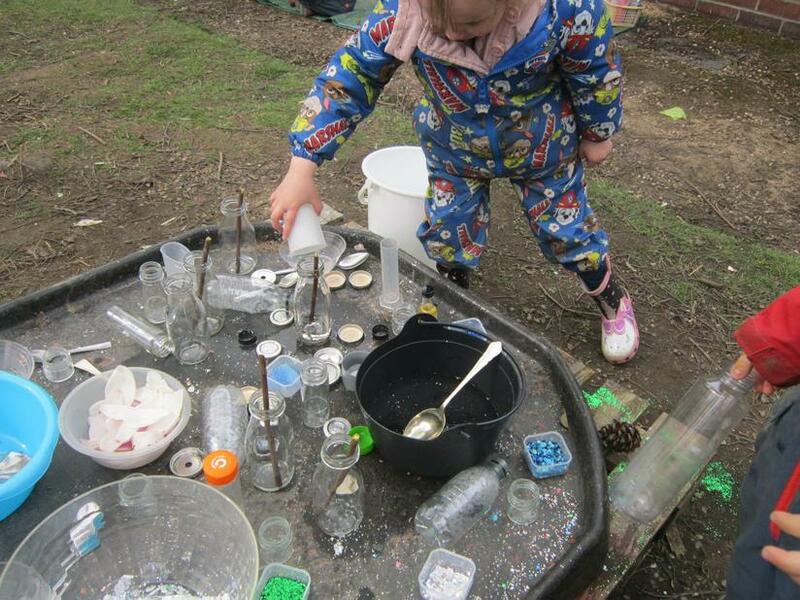 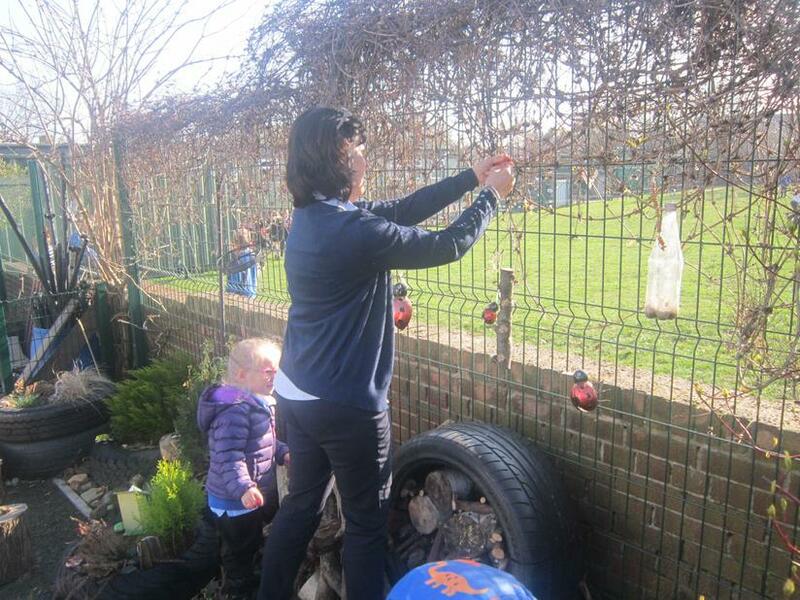 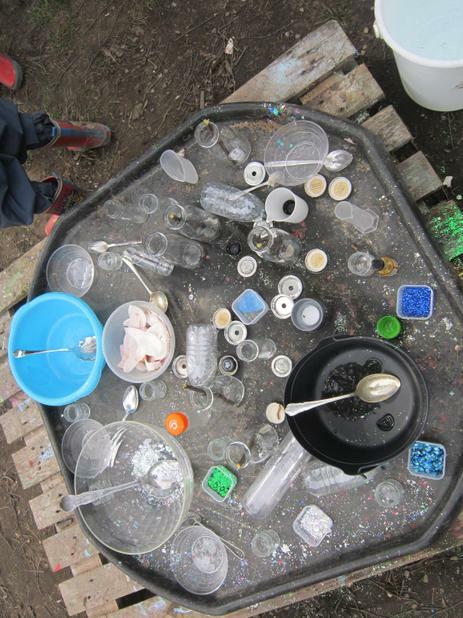 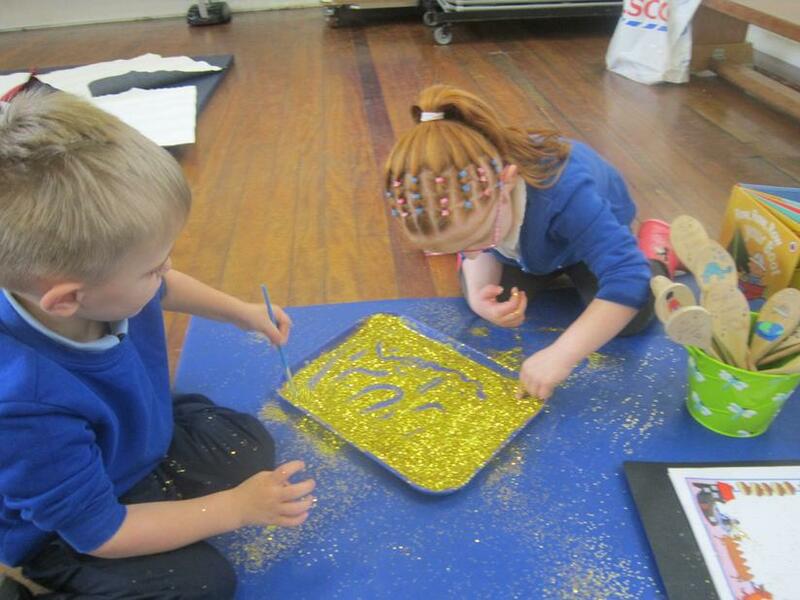 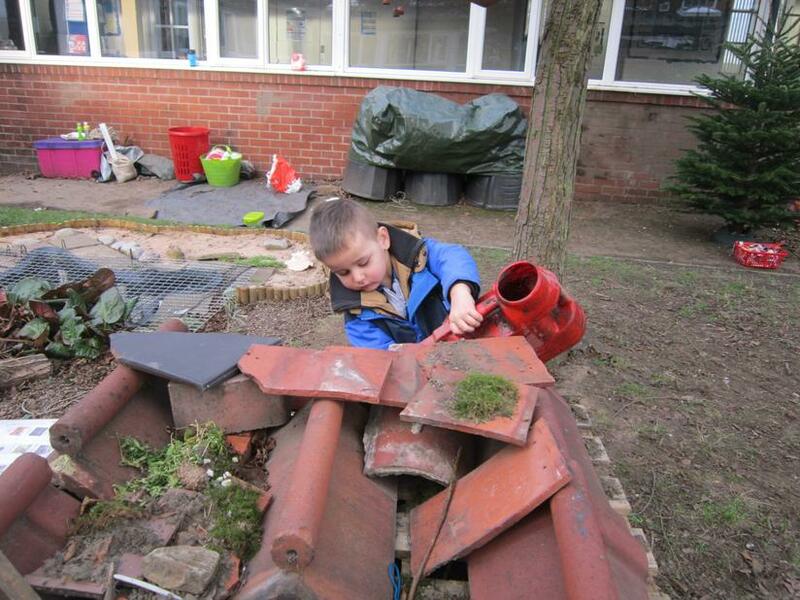 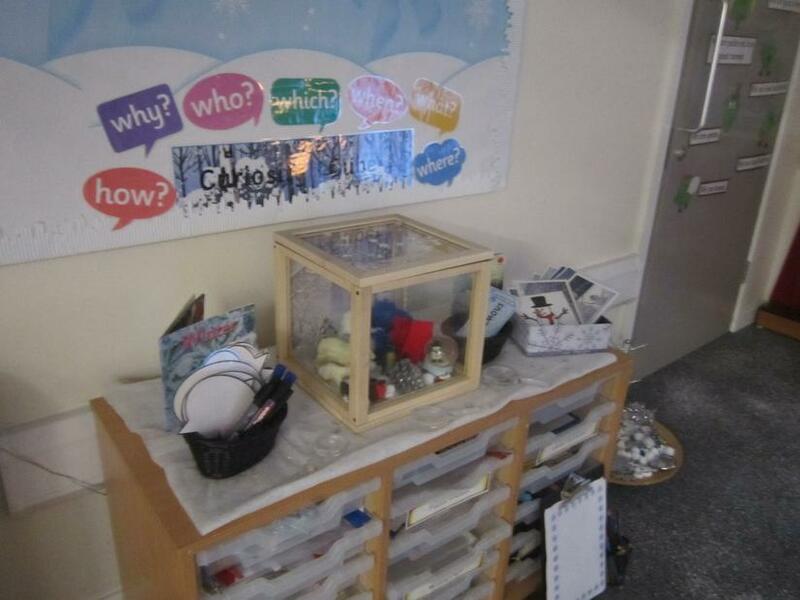 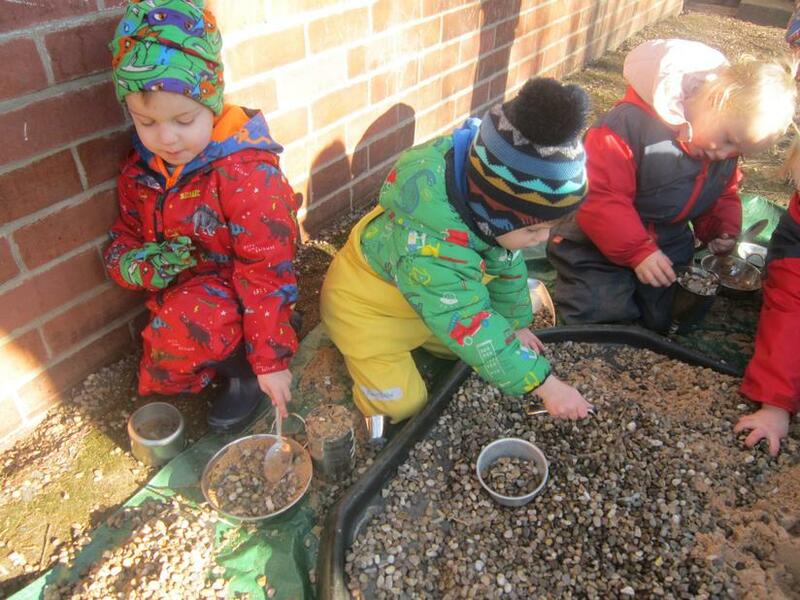 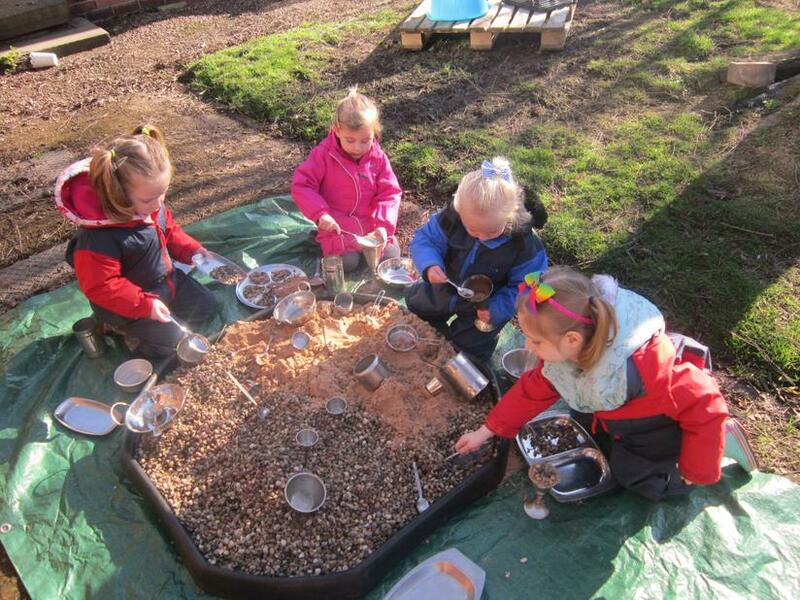 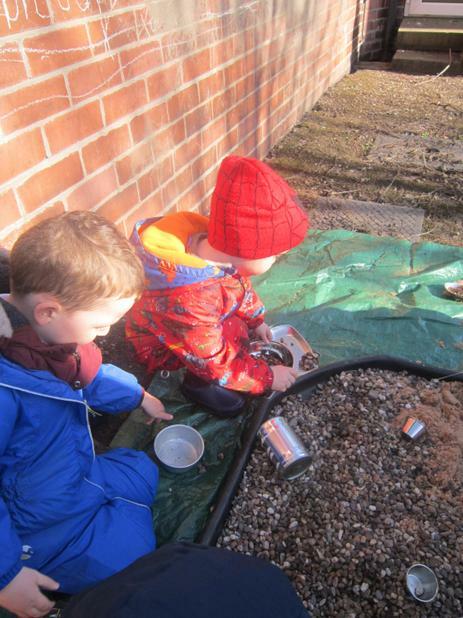 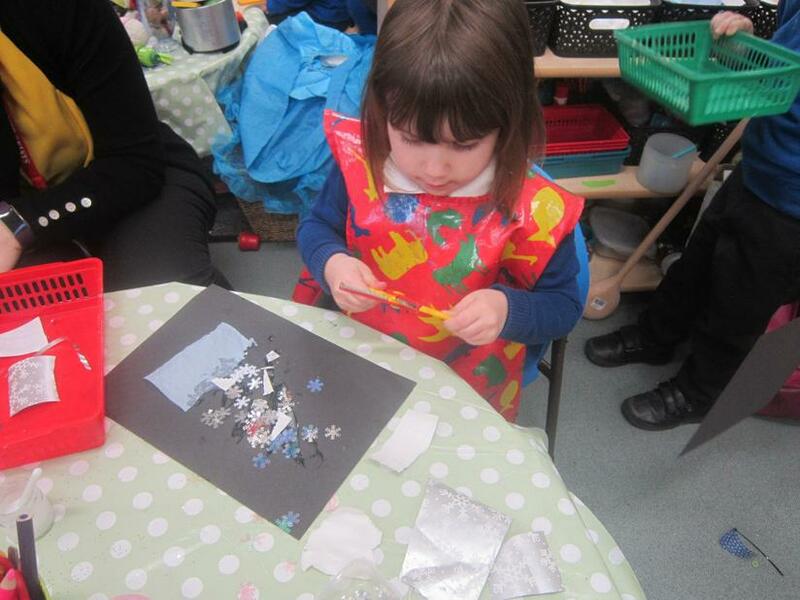 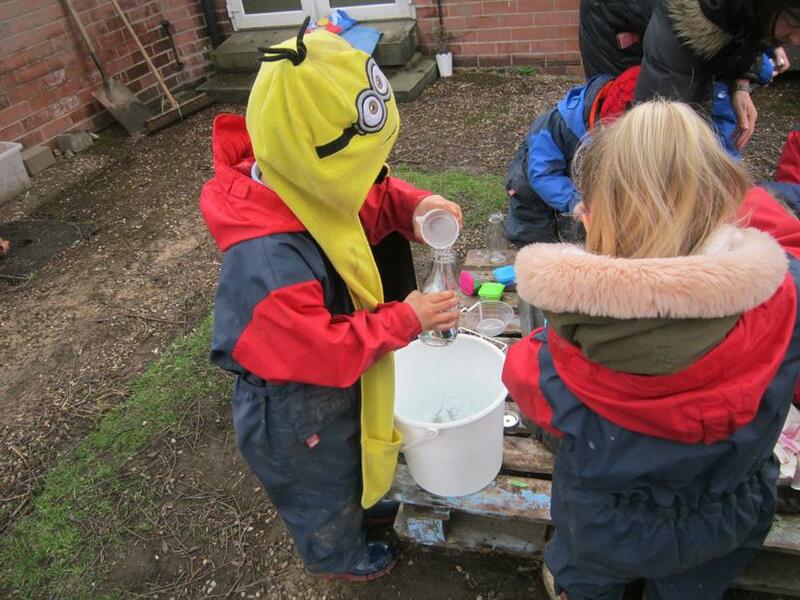 we also filled and emptied various metal containers with gravel and s and . 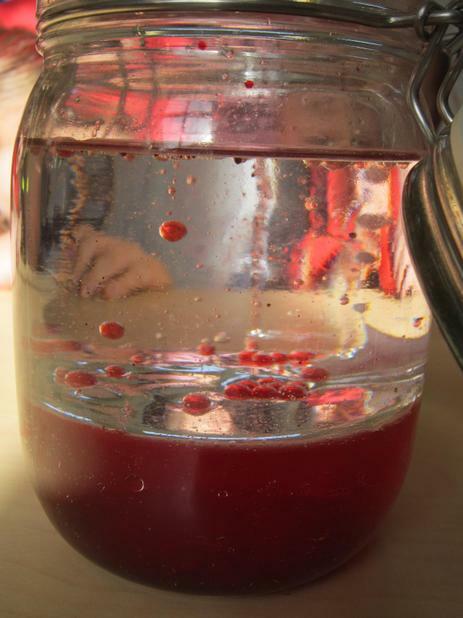 We had some interesting drinks that day. 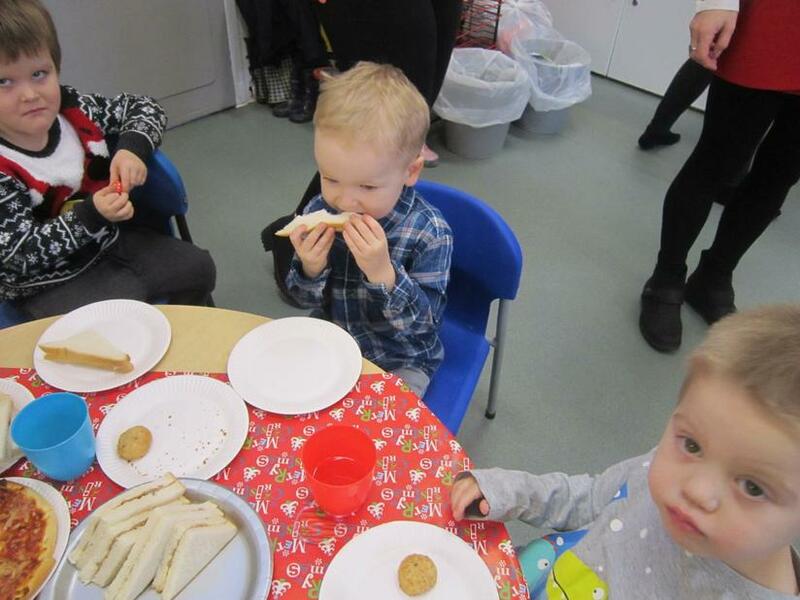 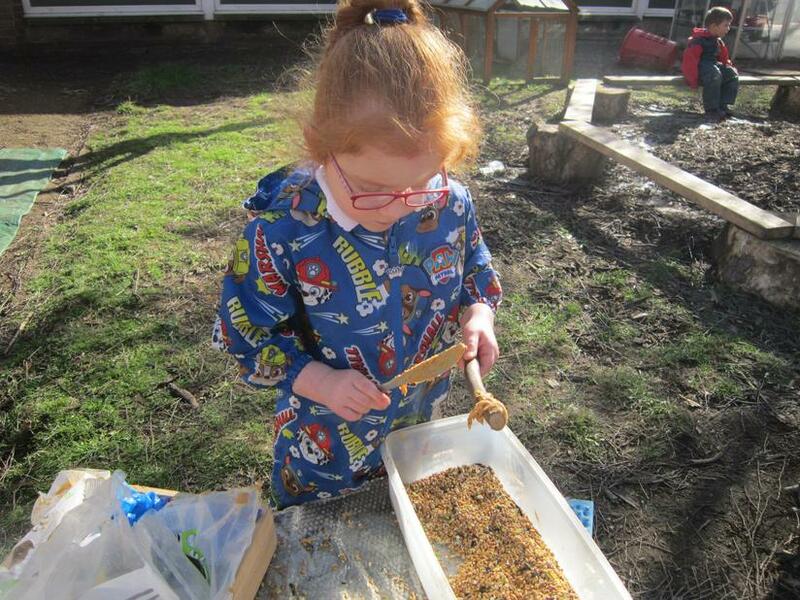 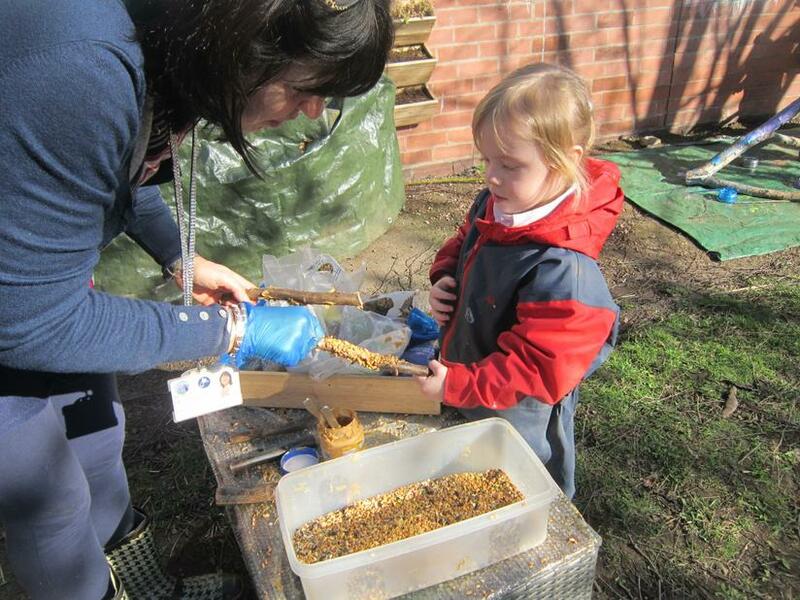 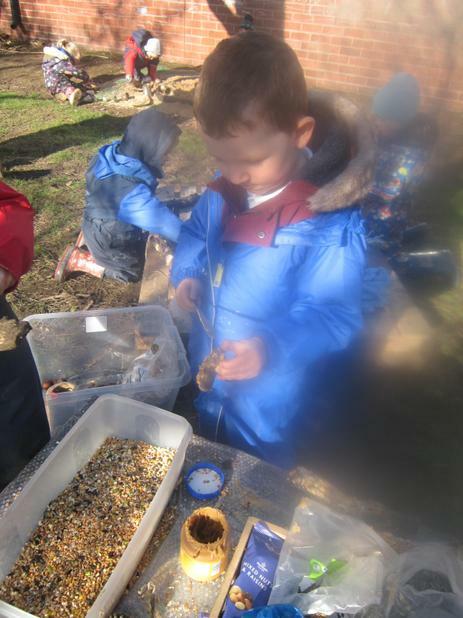 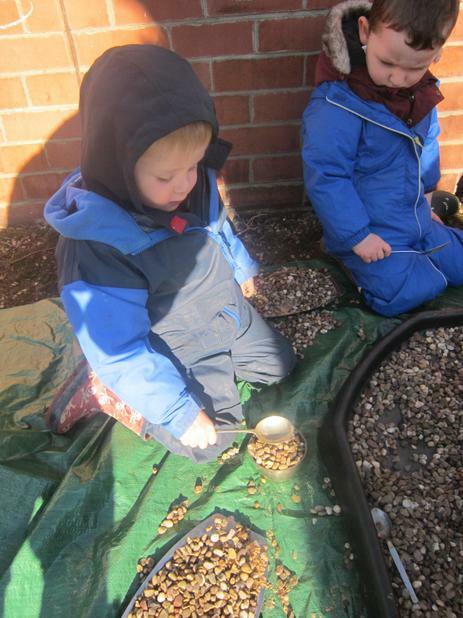 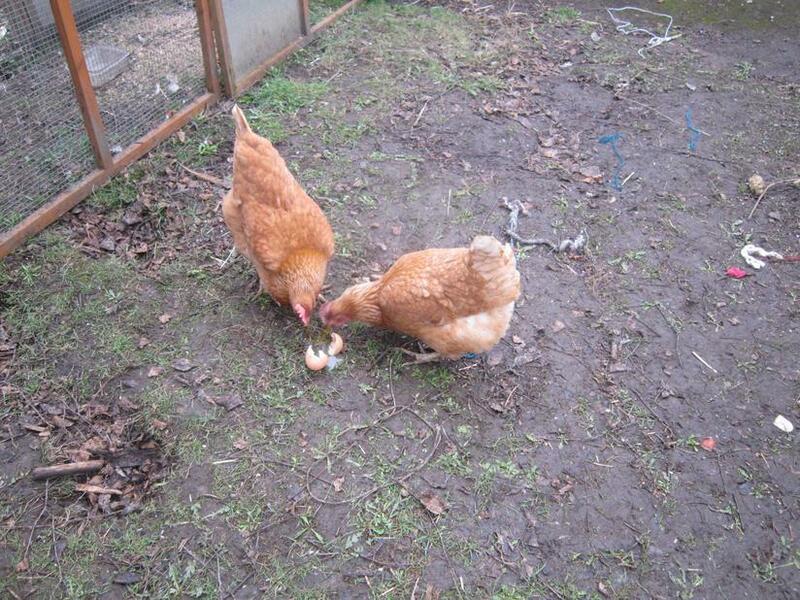 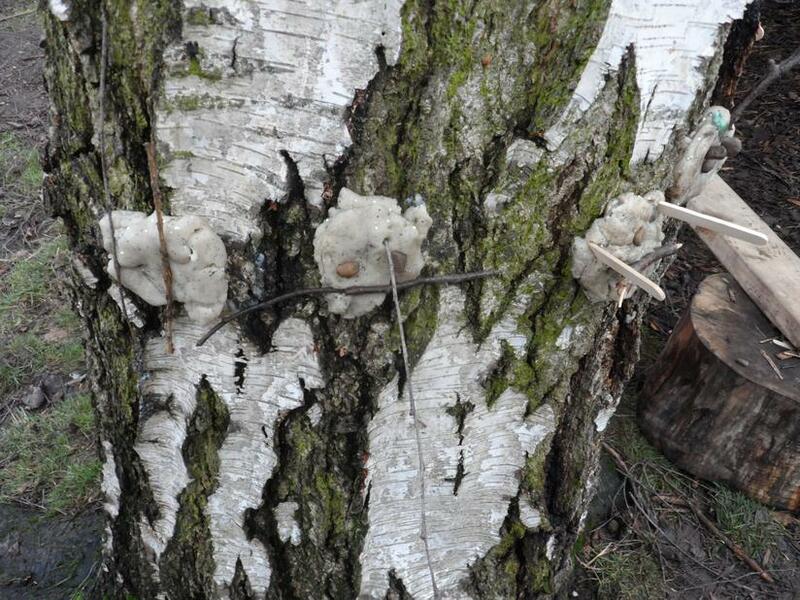 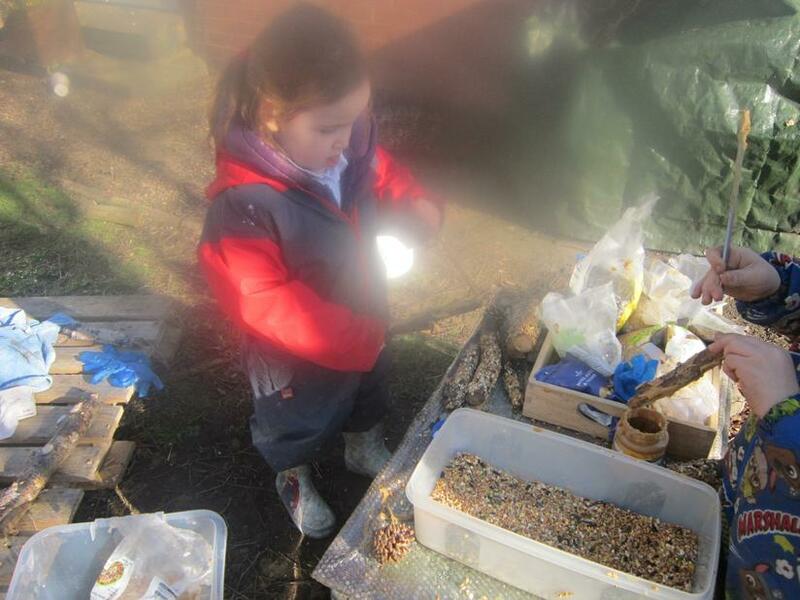 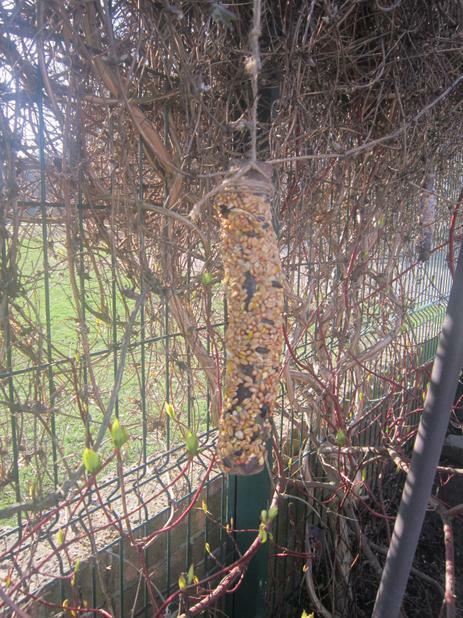 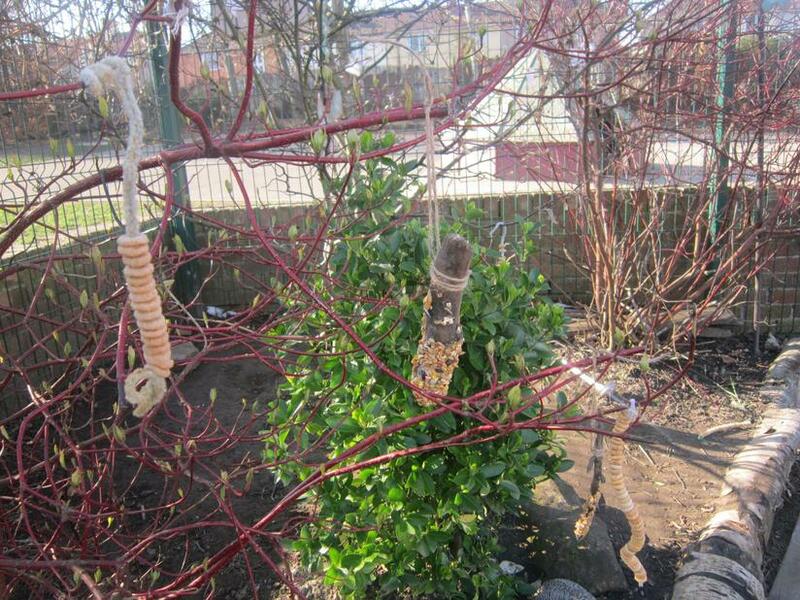 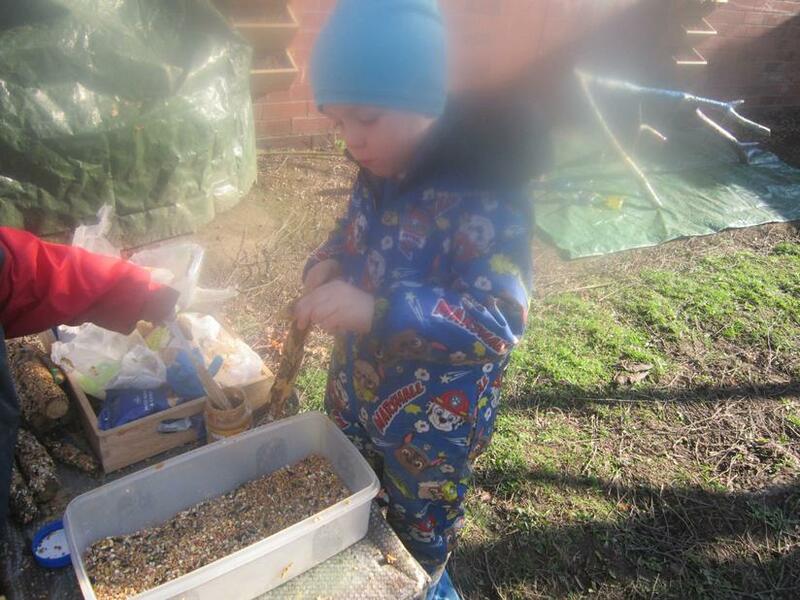 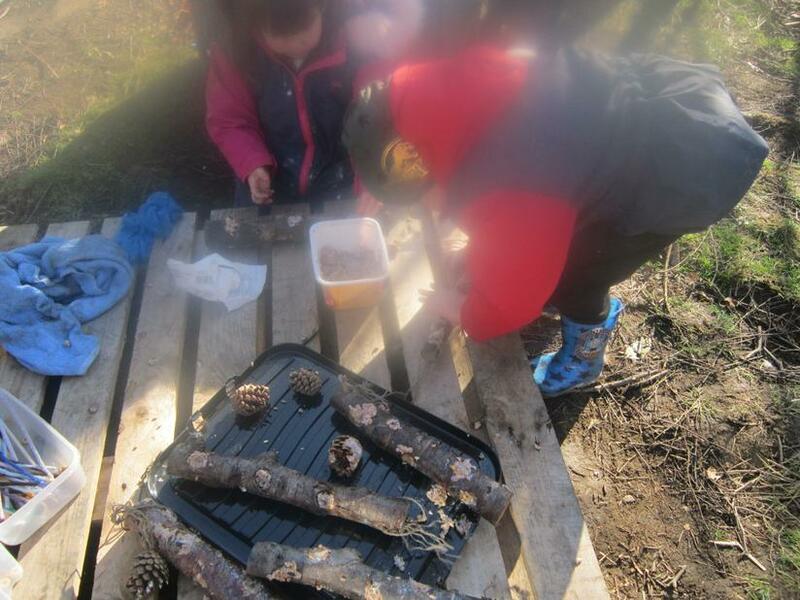 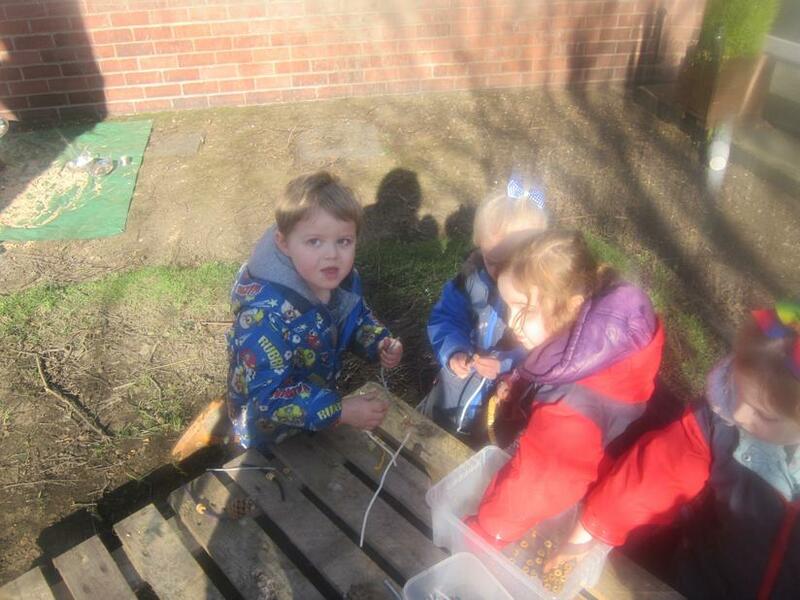 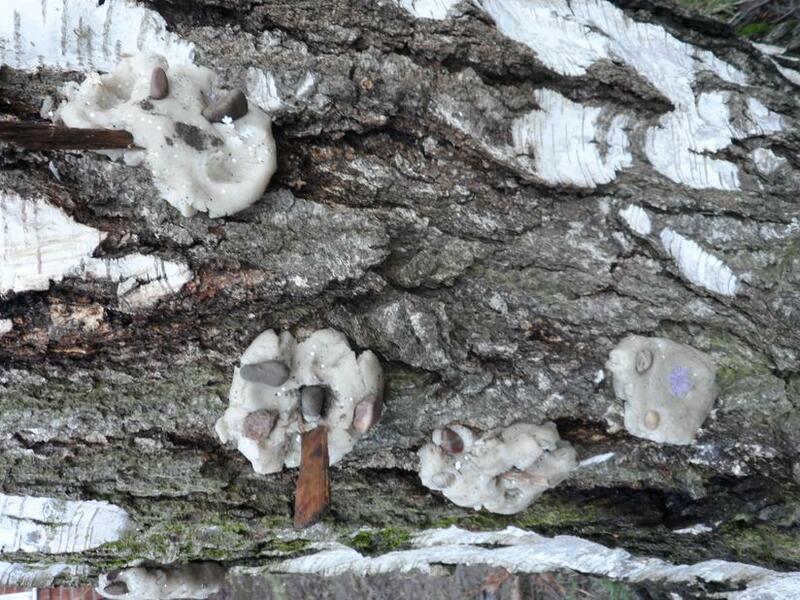 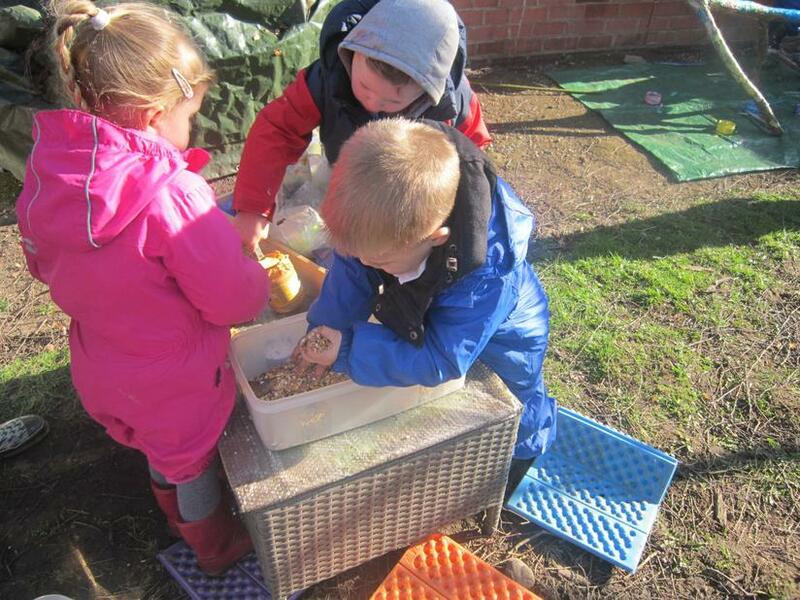 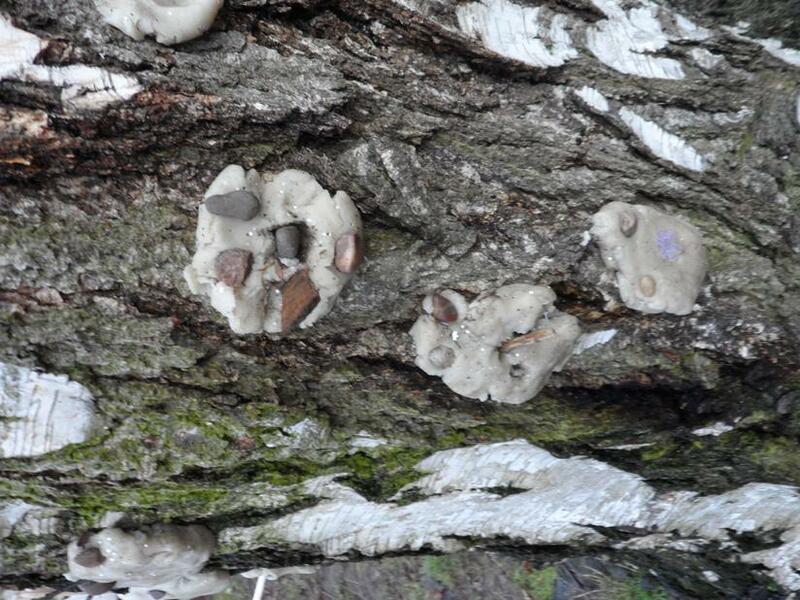 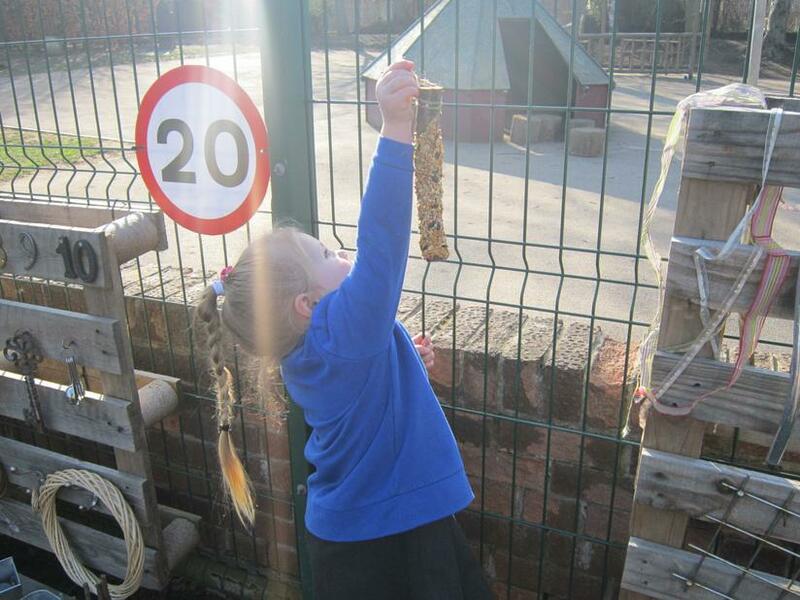 We set up a bird feeding station and made peanut butter seed rolls and refilled our fat logs. 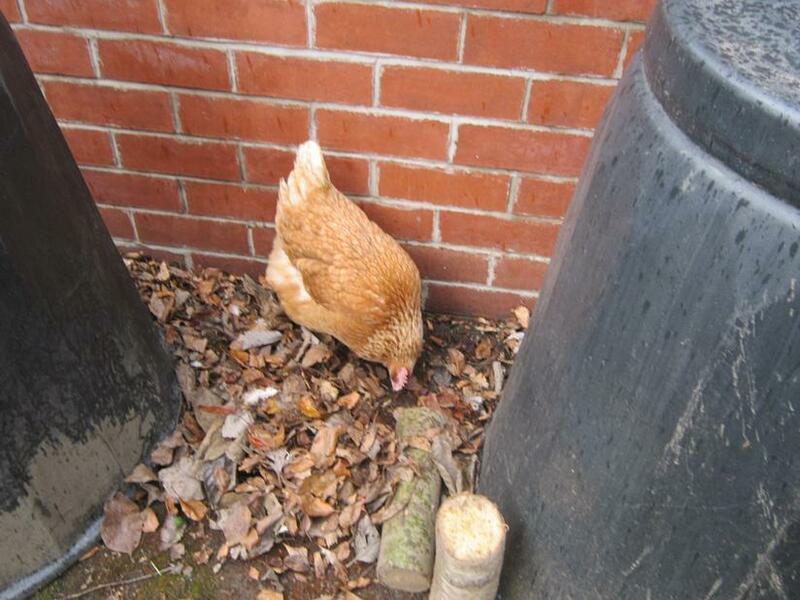 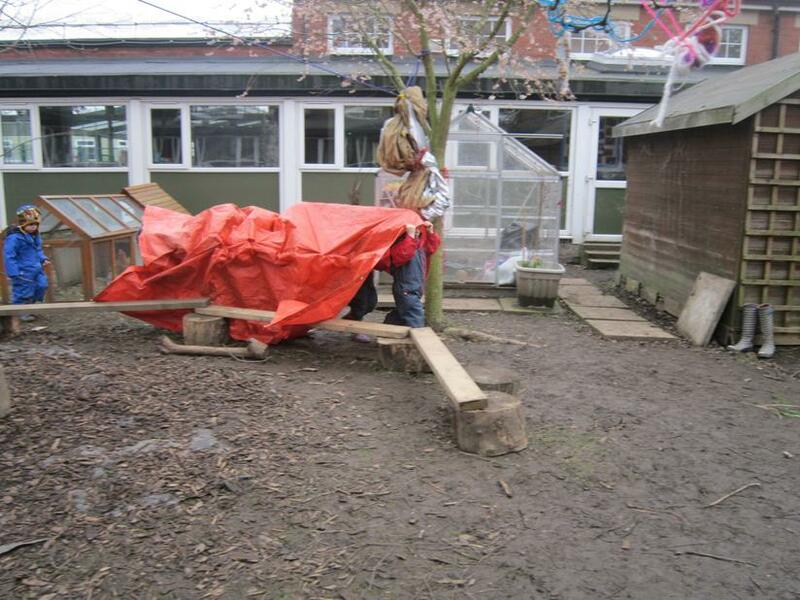 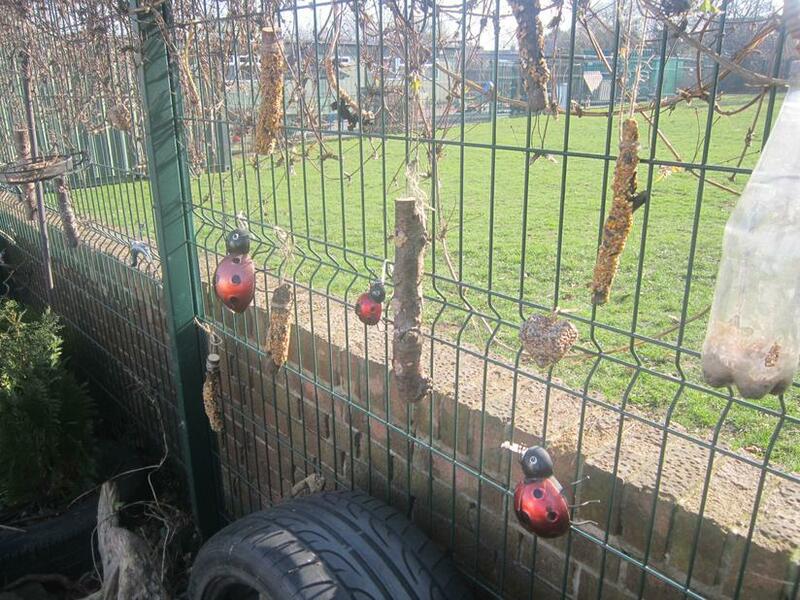 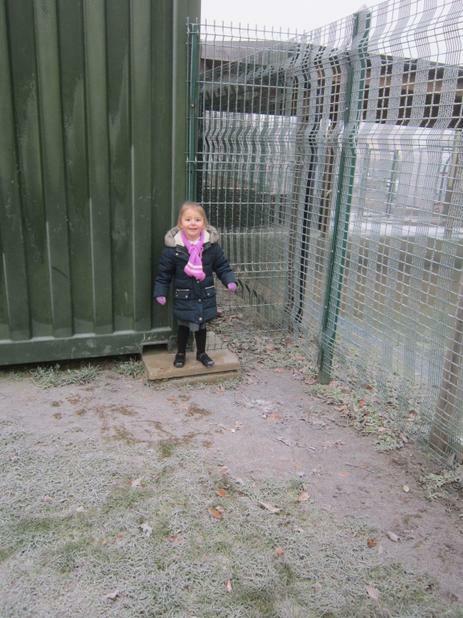 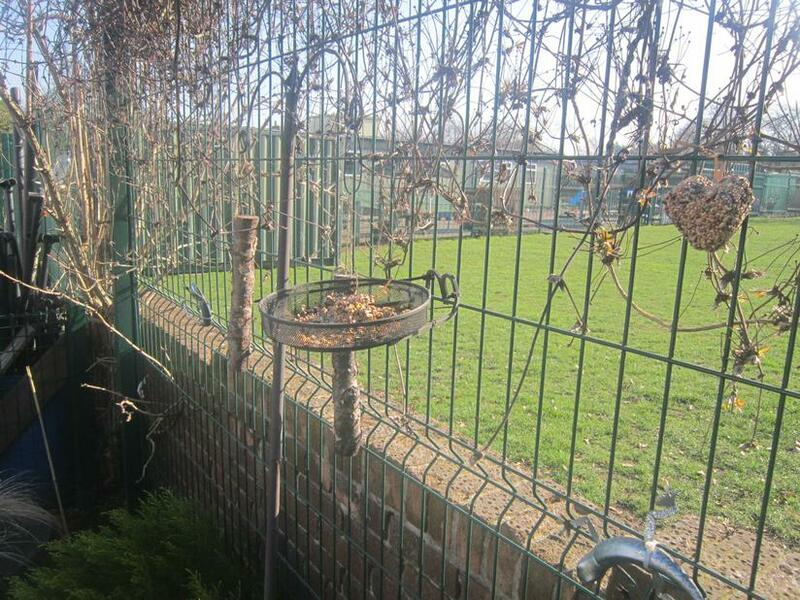 They're now in our outdoor area ready for the birds. 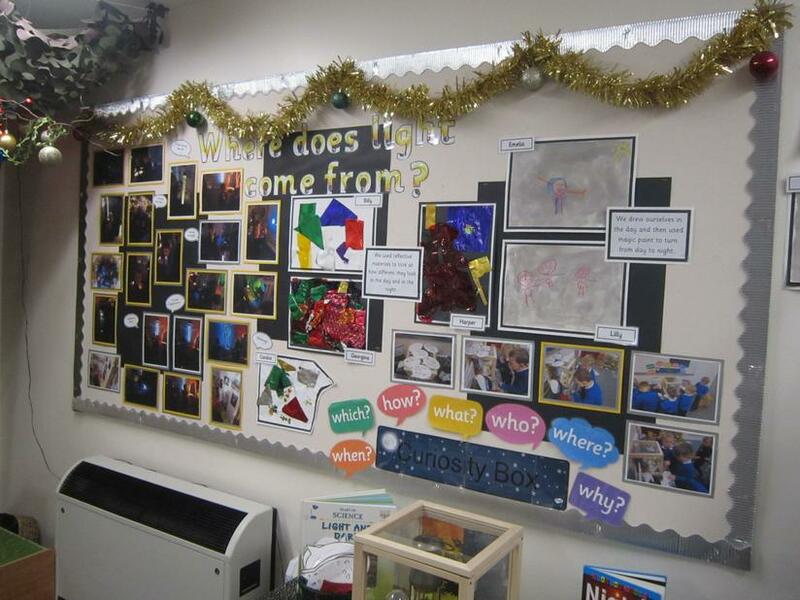 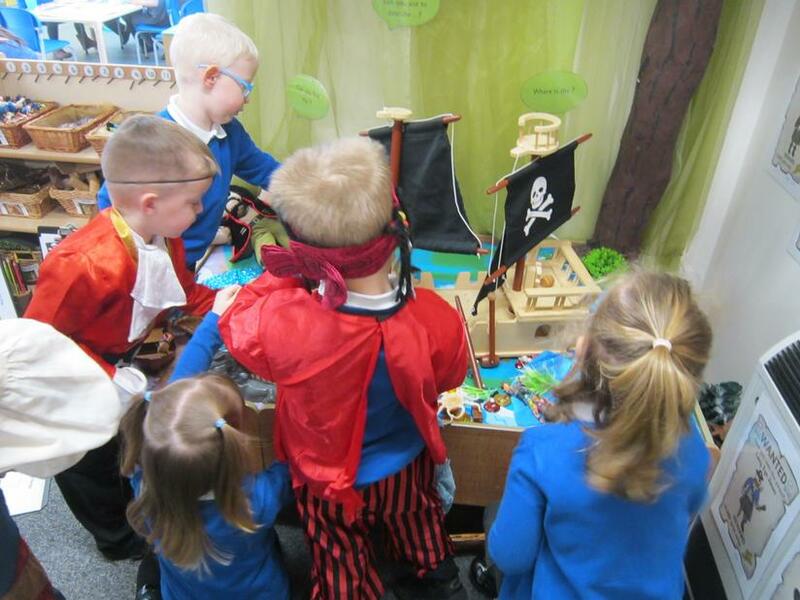 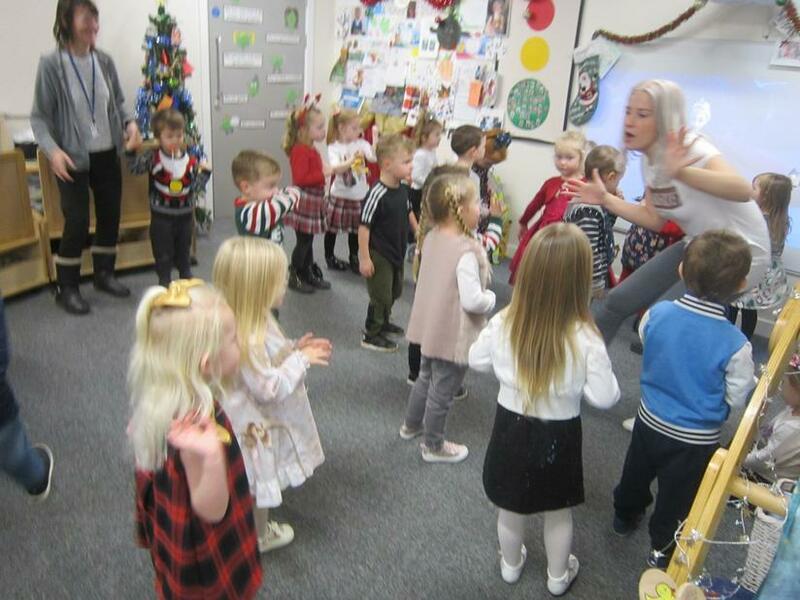 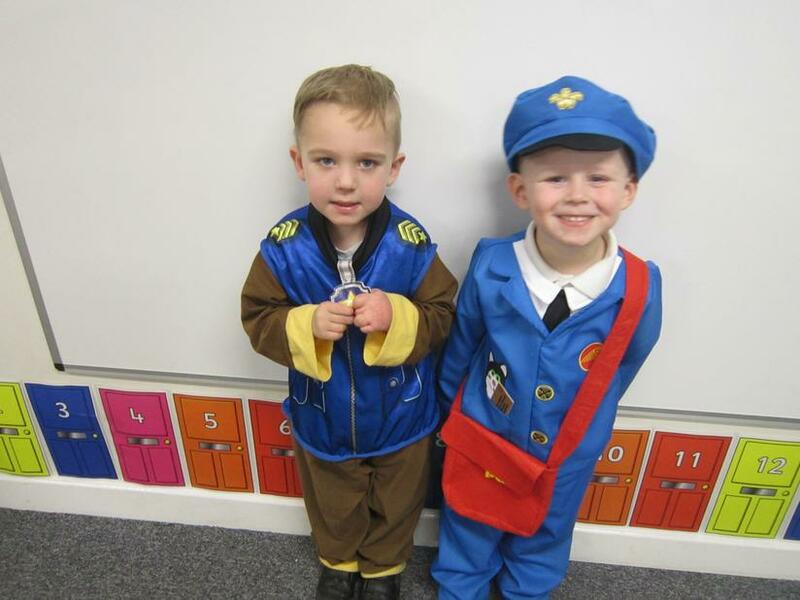 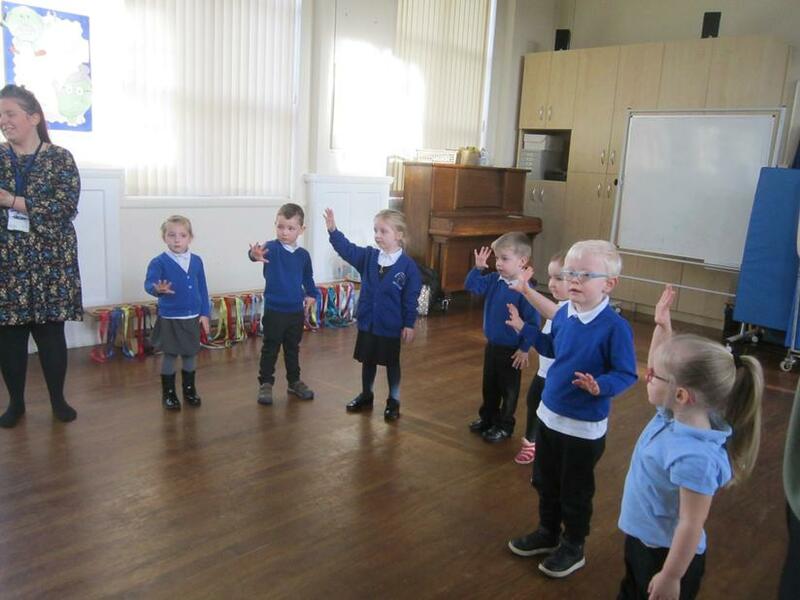 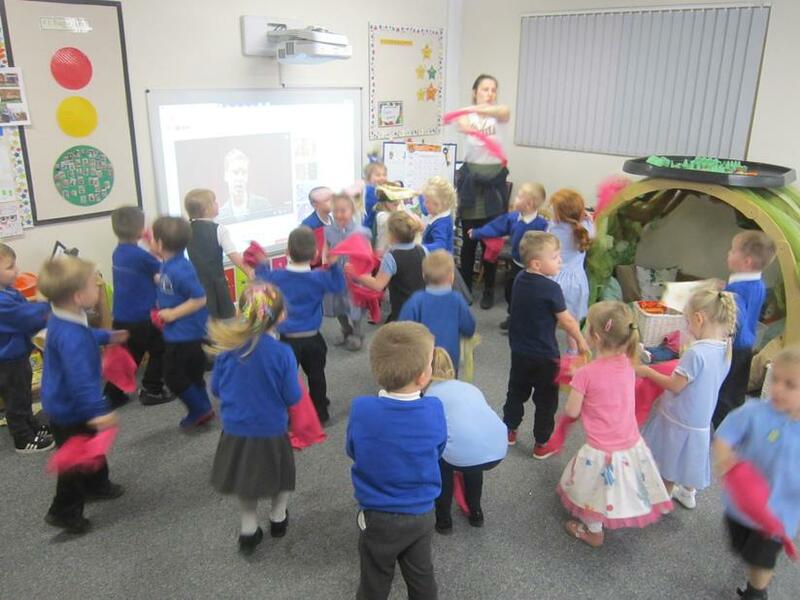 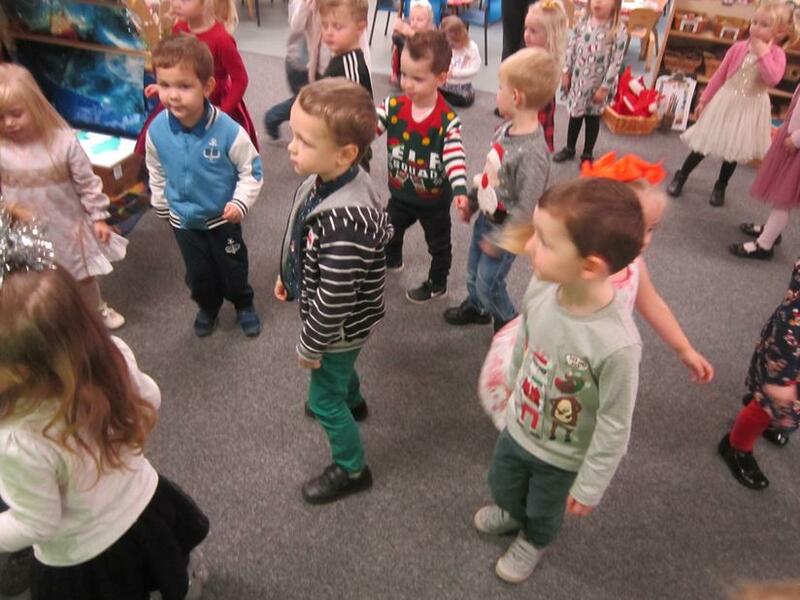 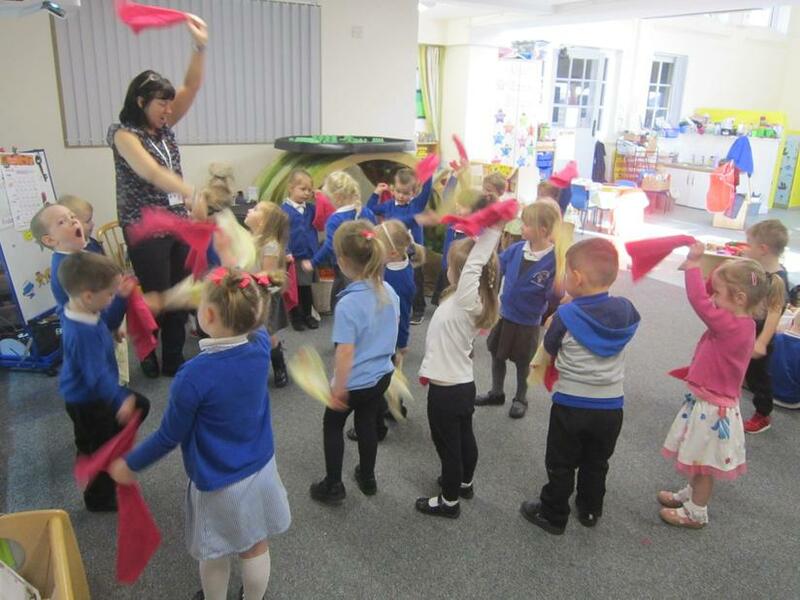 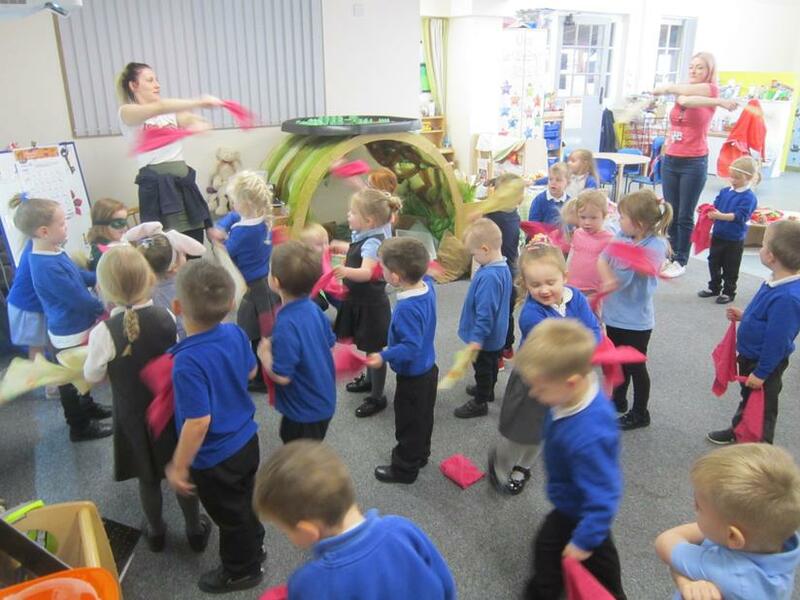 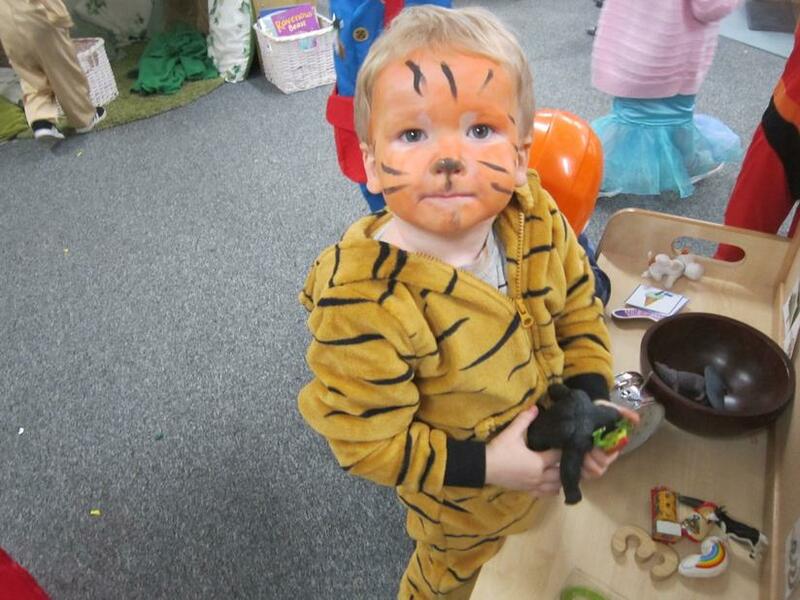 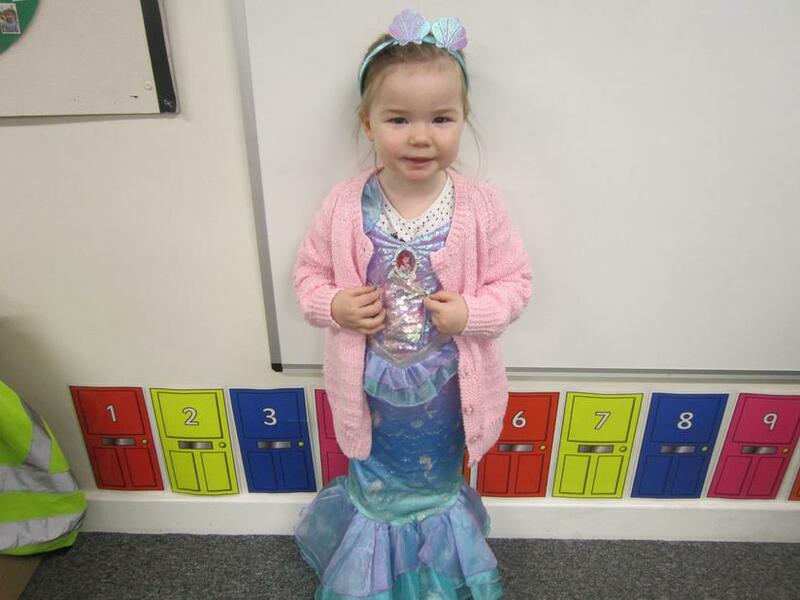 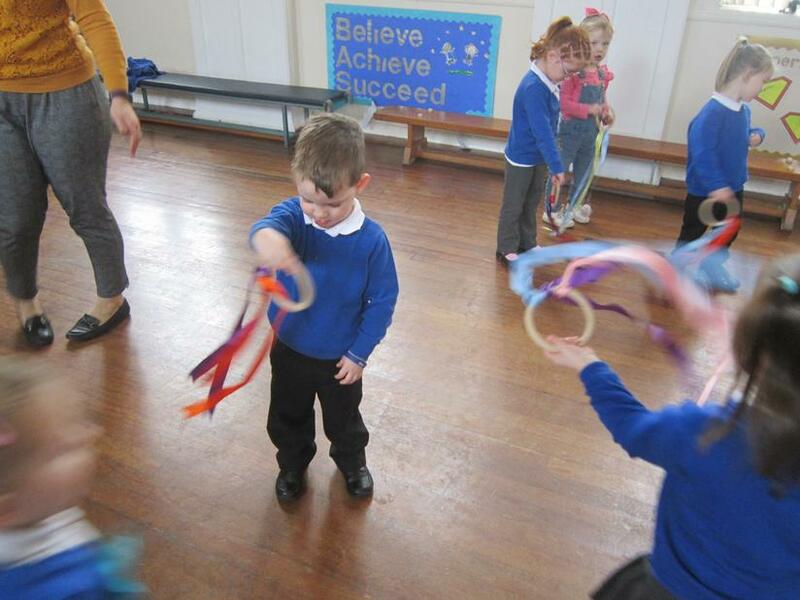 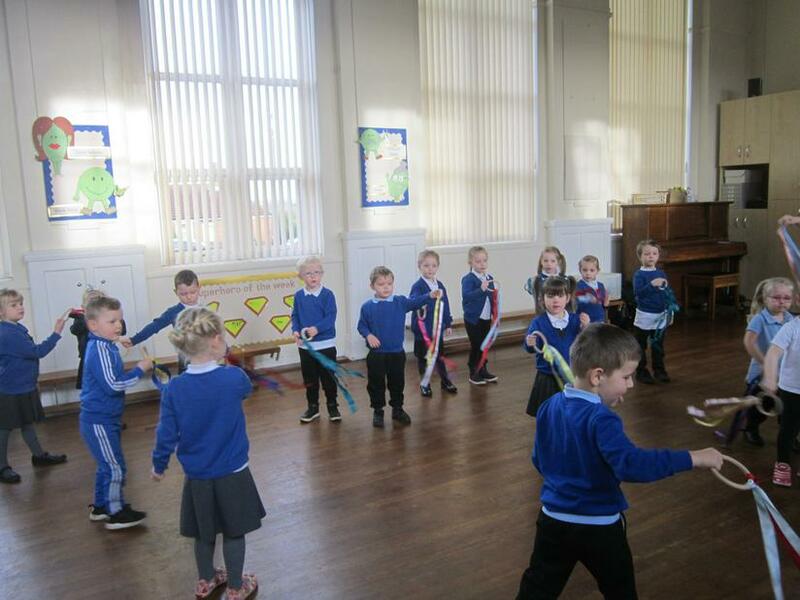 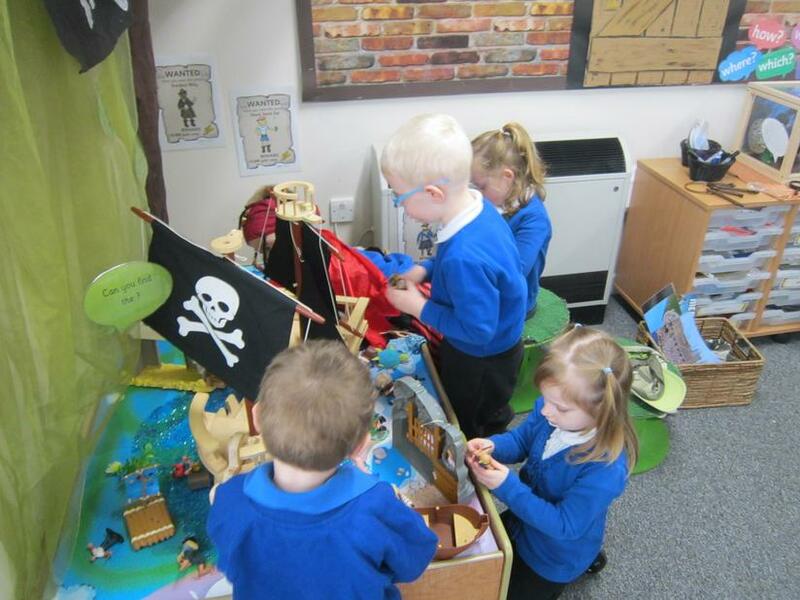 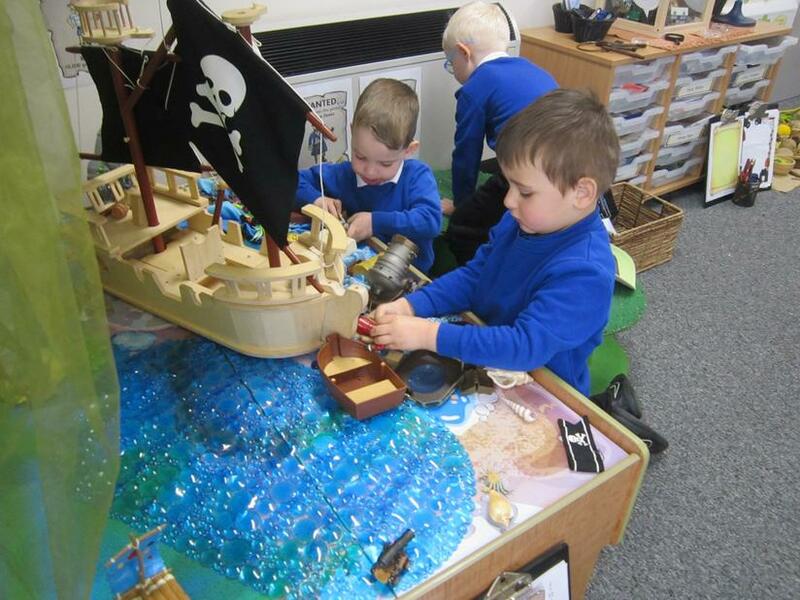 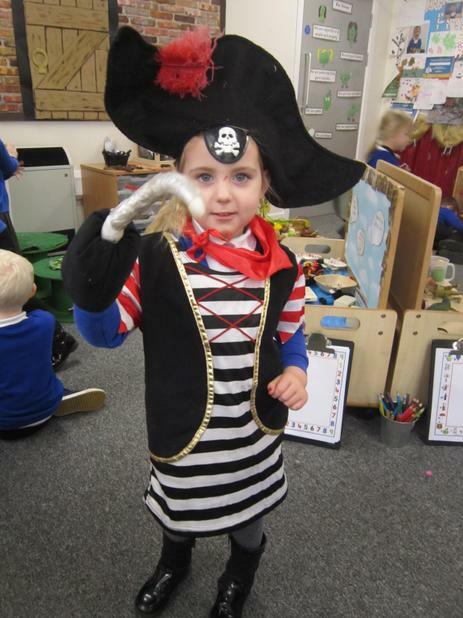 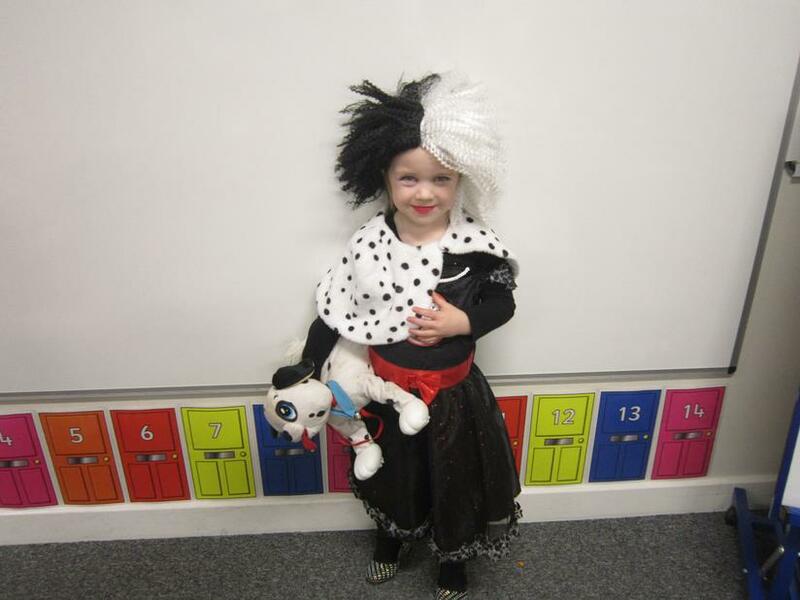 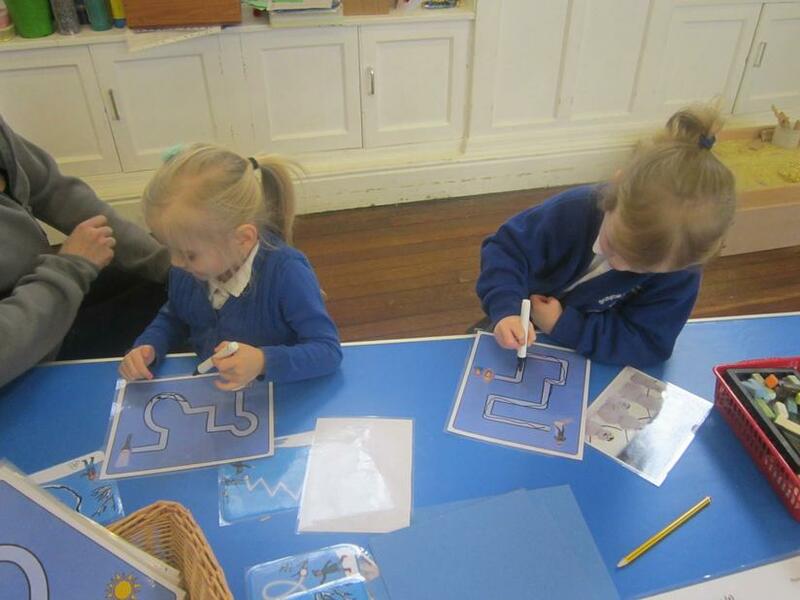 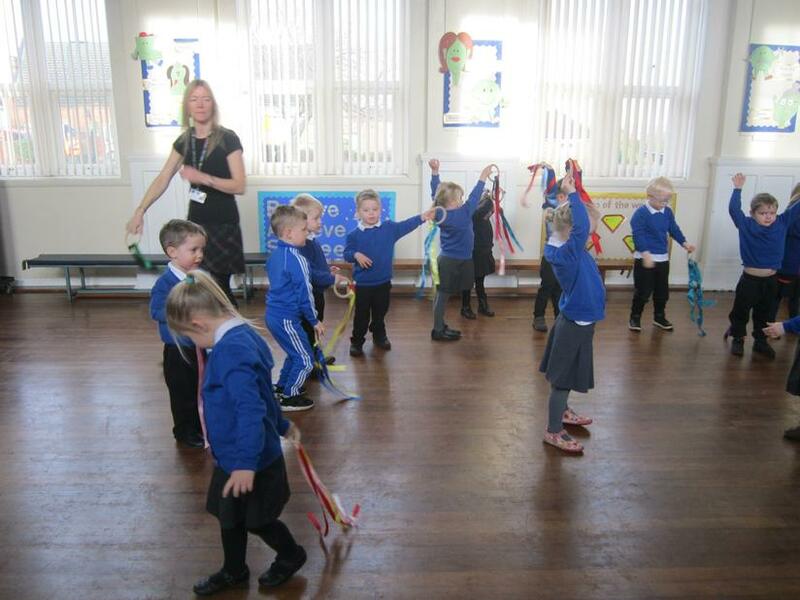 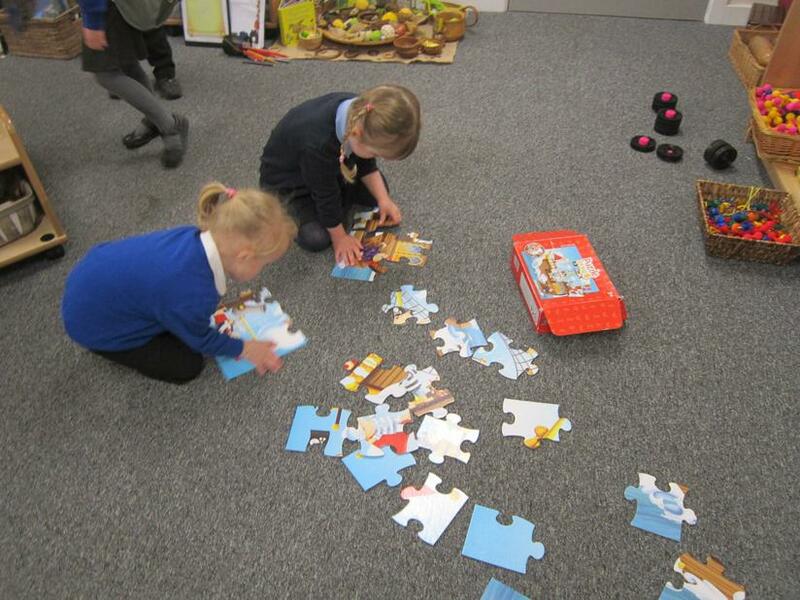 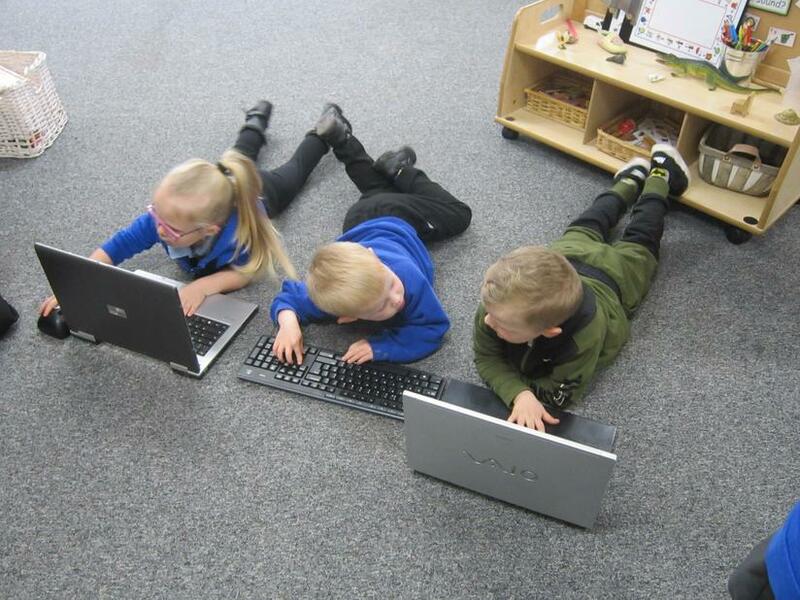 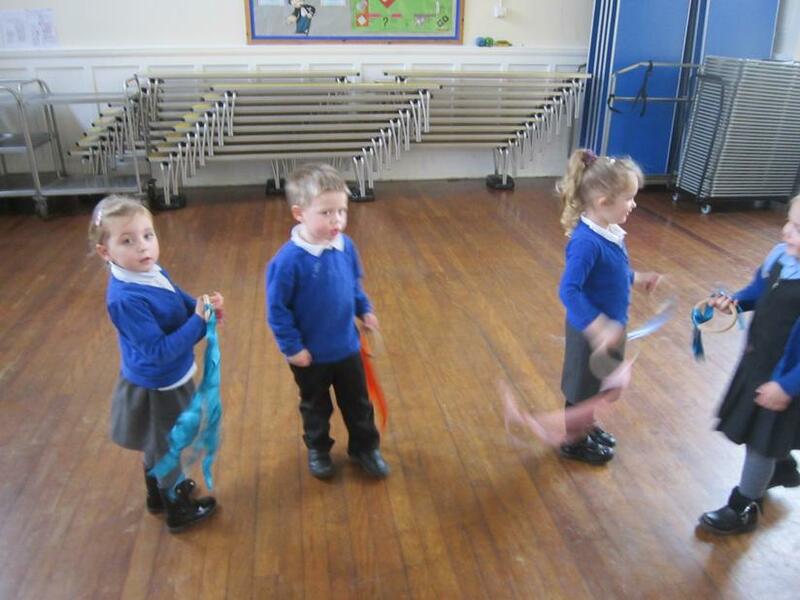 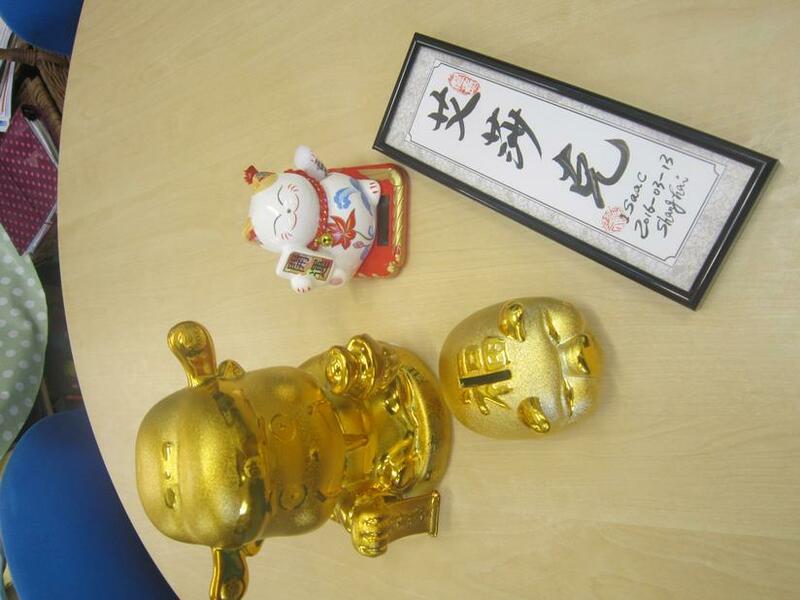 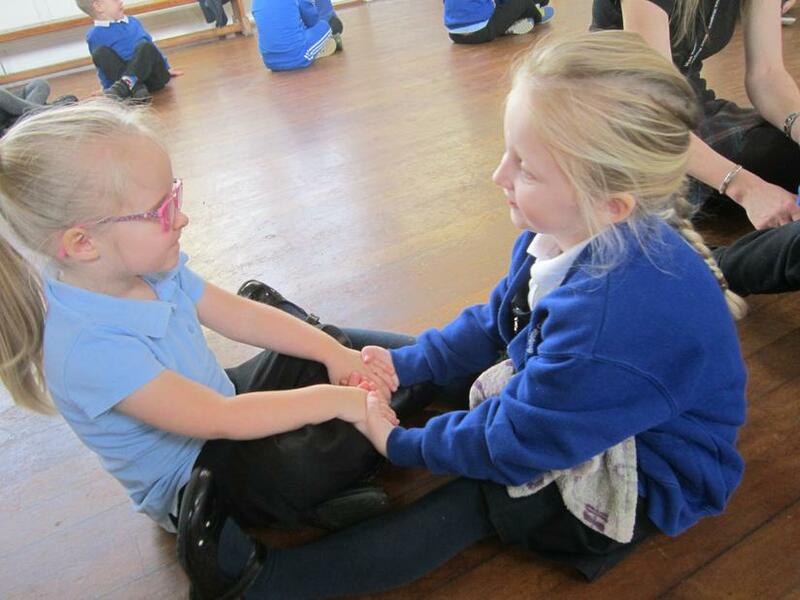 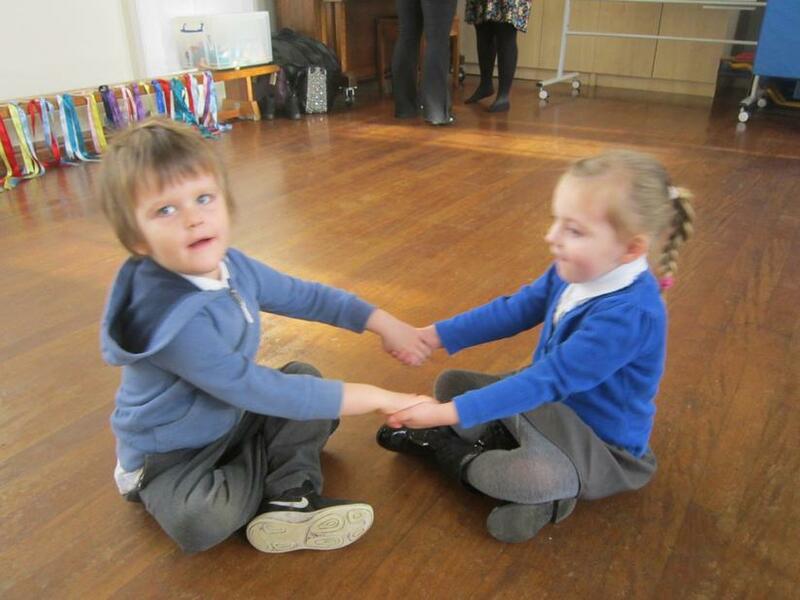 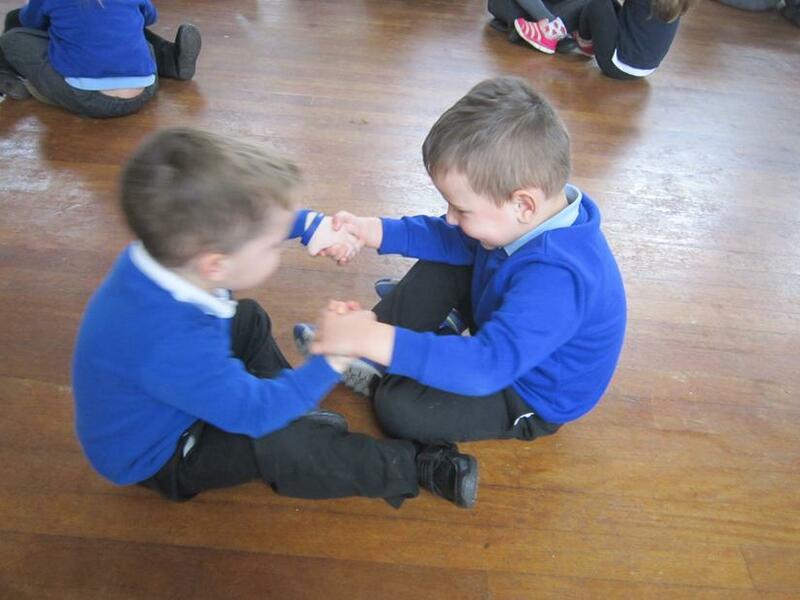 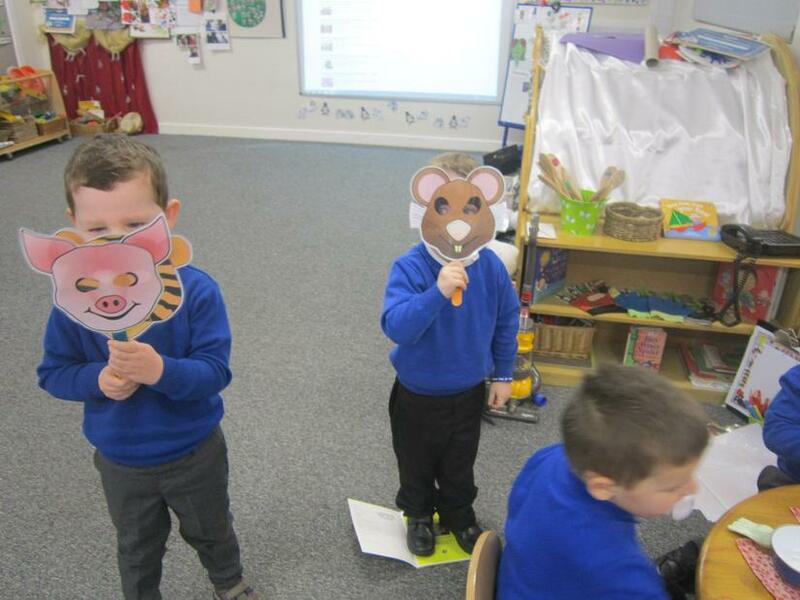 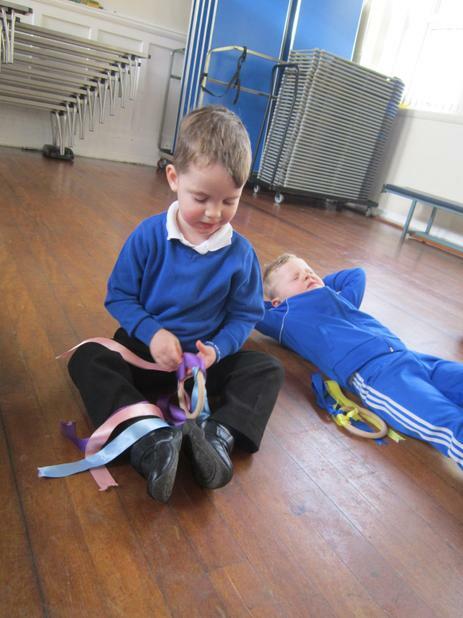 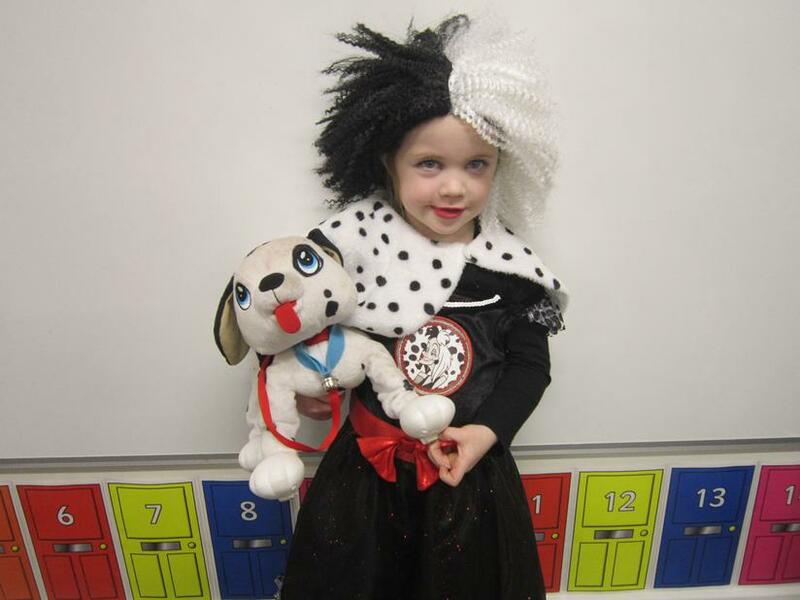 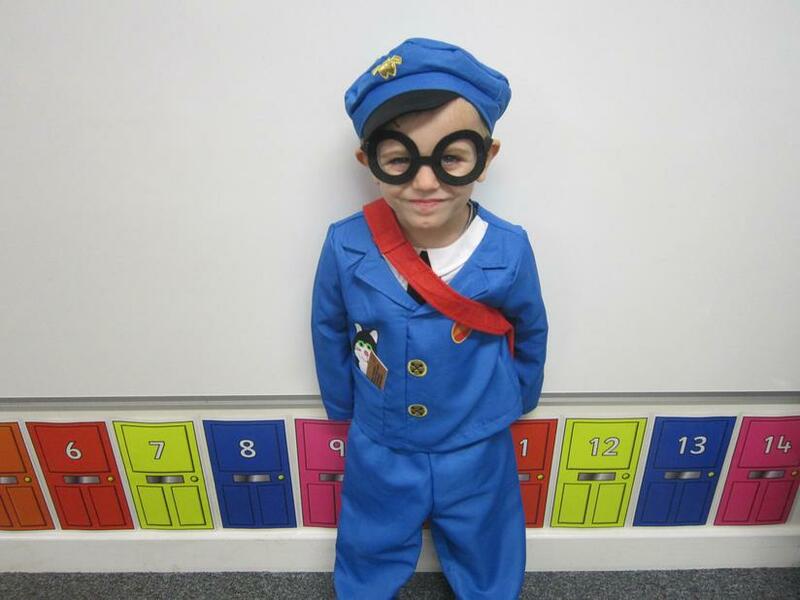 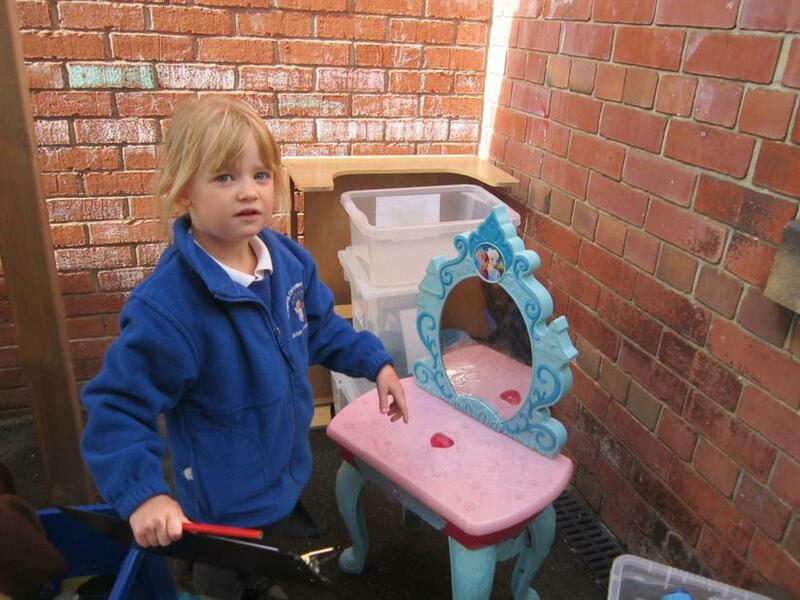 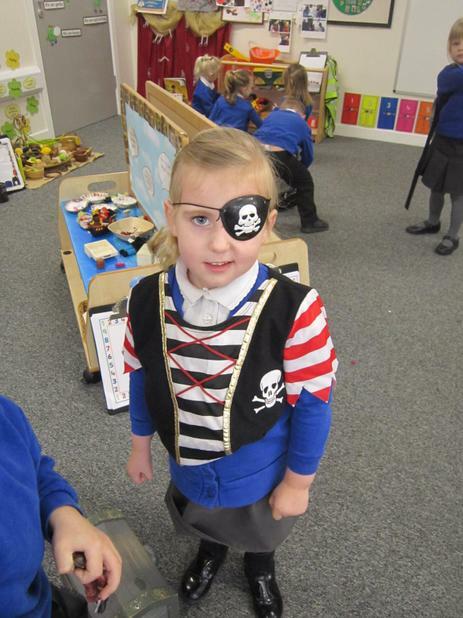 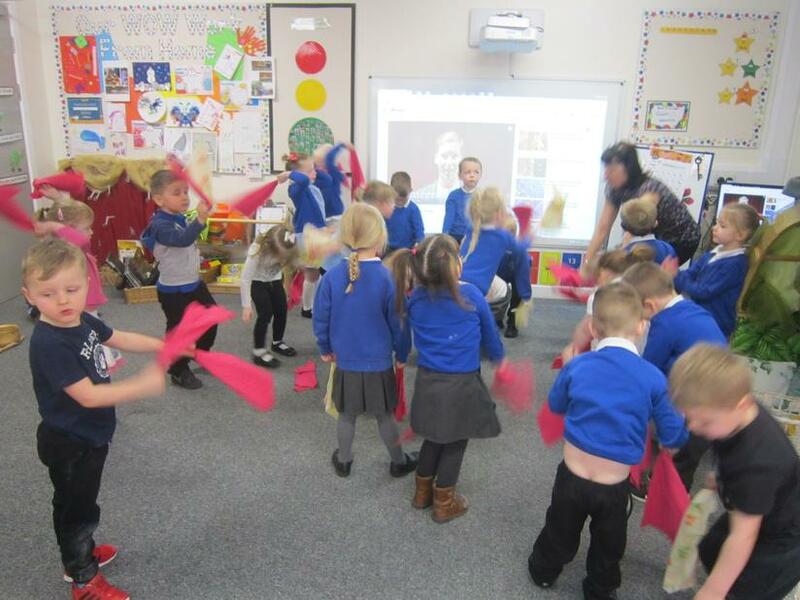 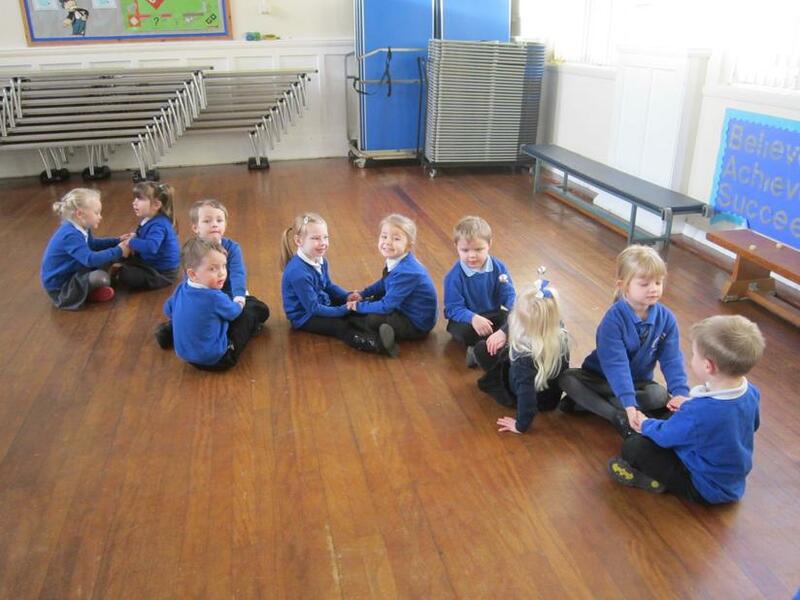 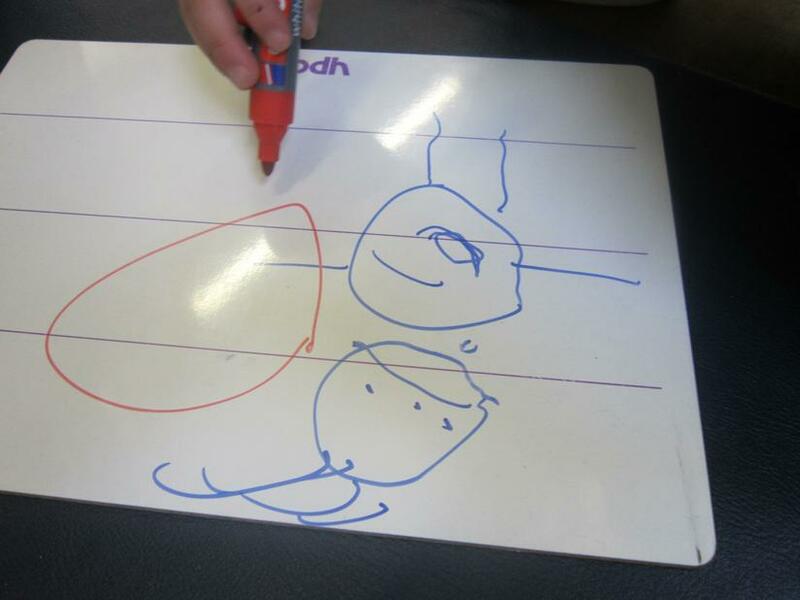 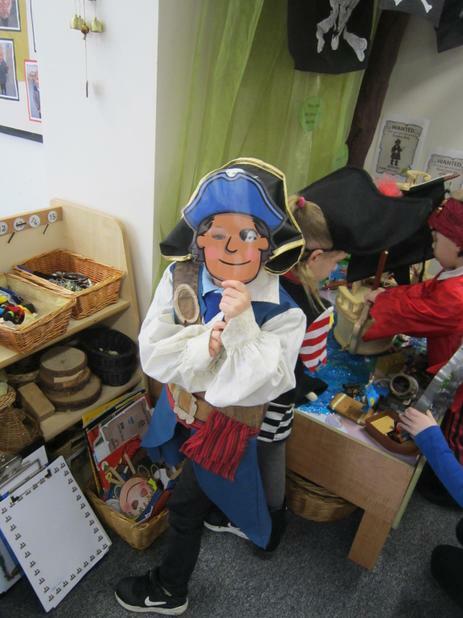 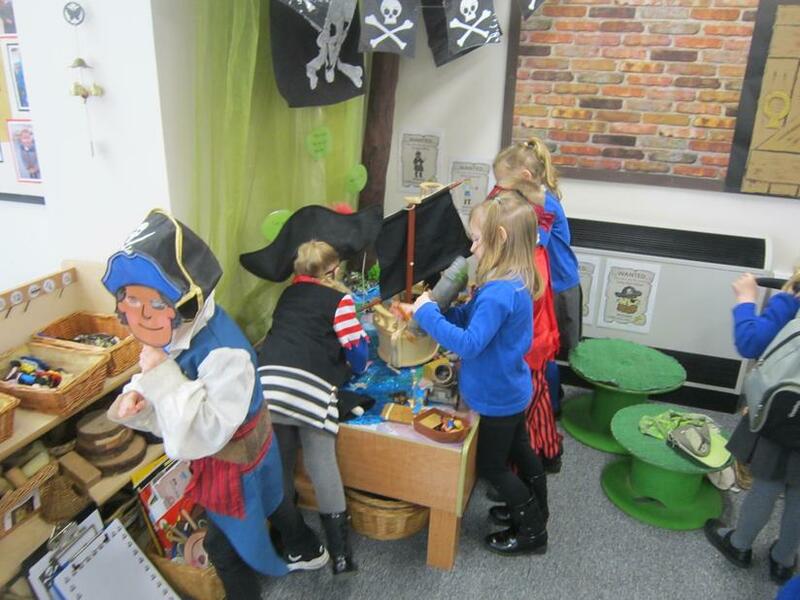 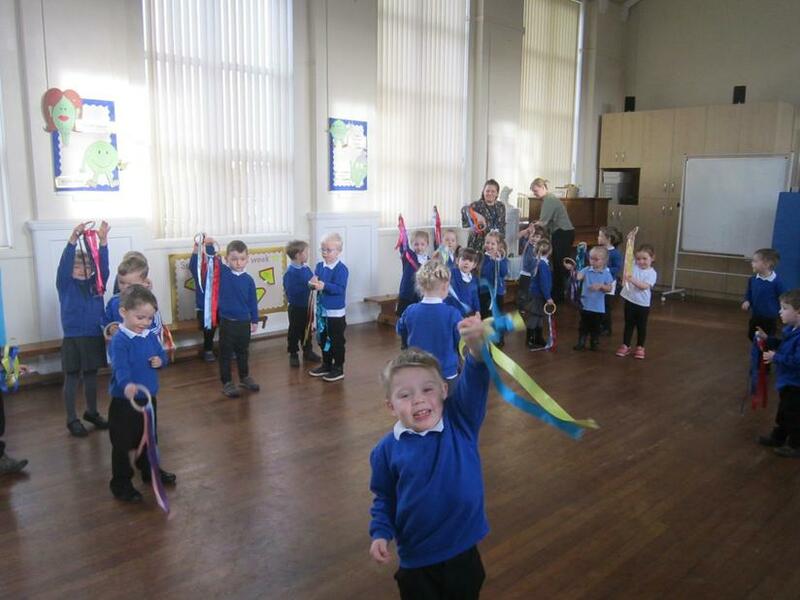 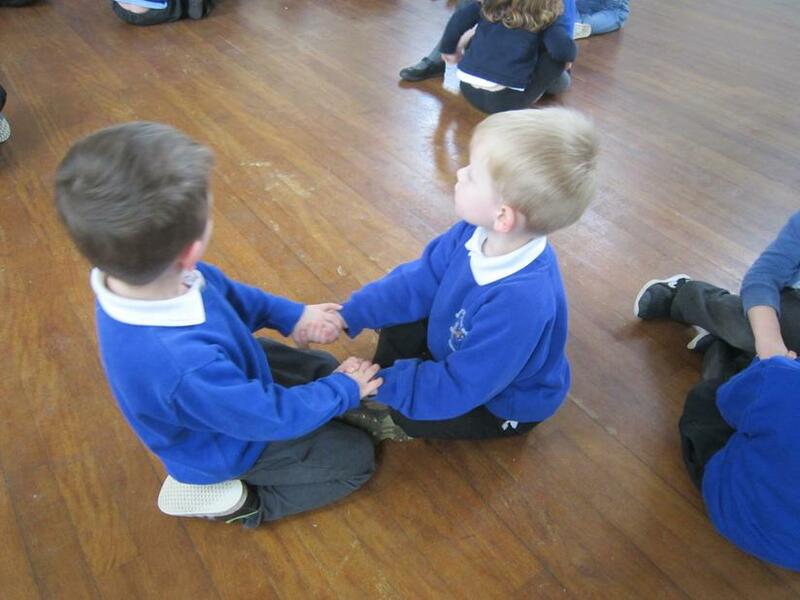 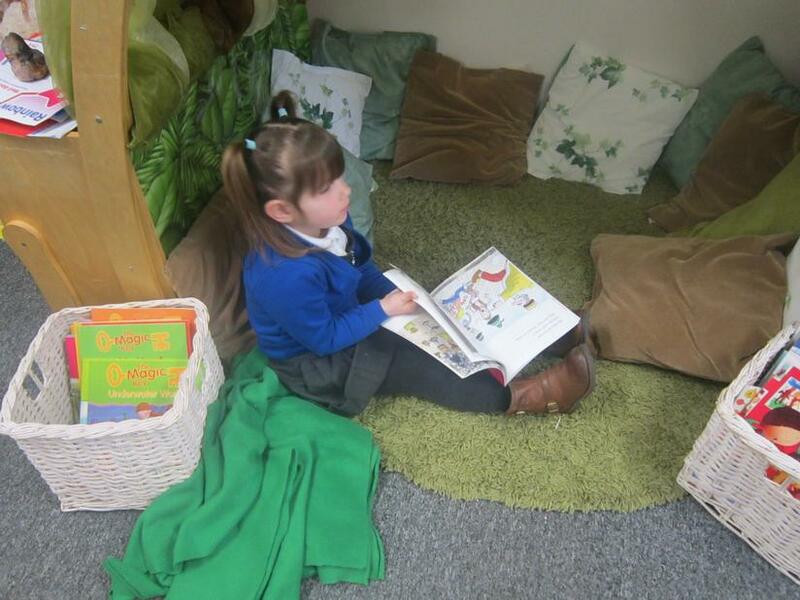 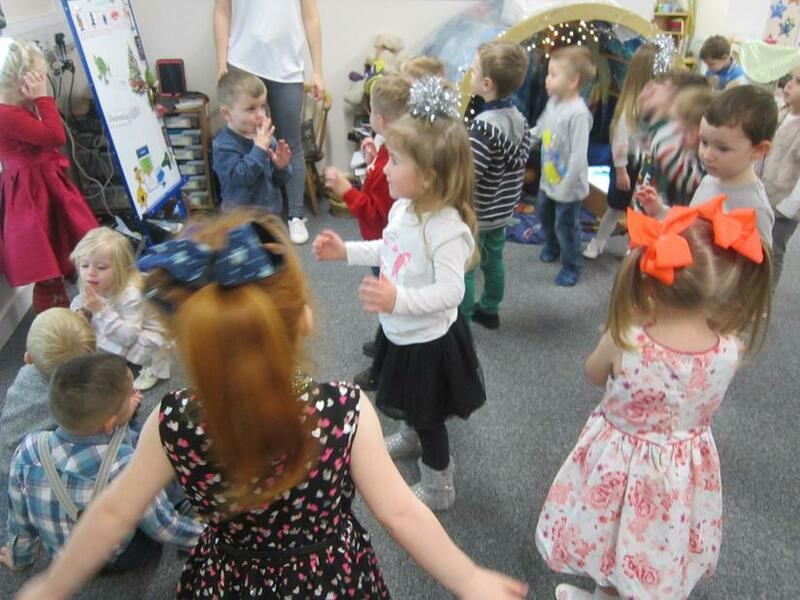 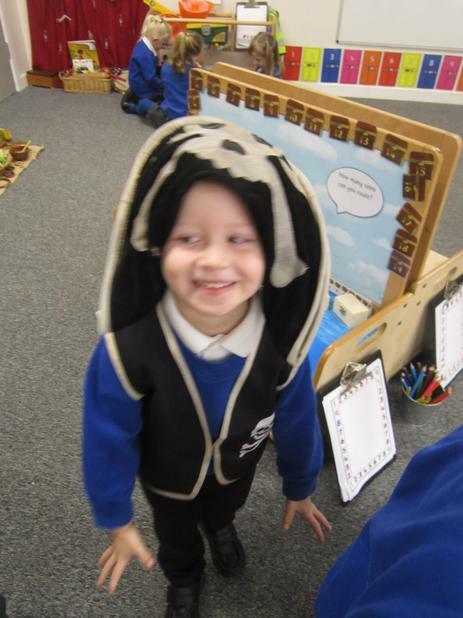 Our new topic for this term is The Magic Key Adventures. 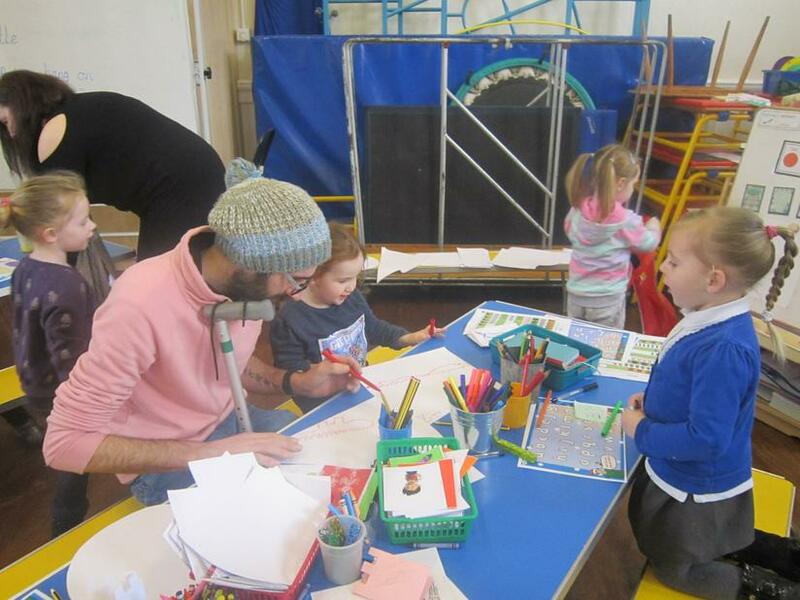 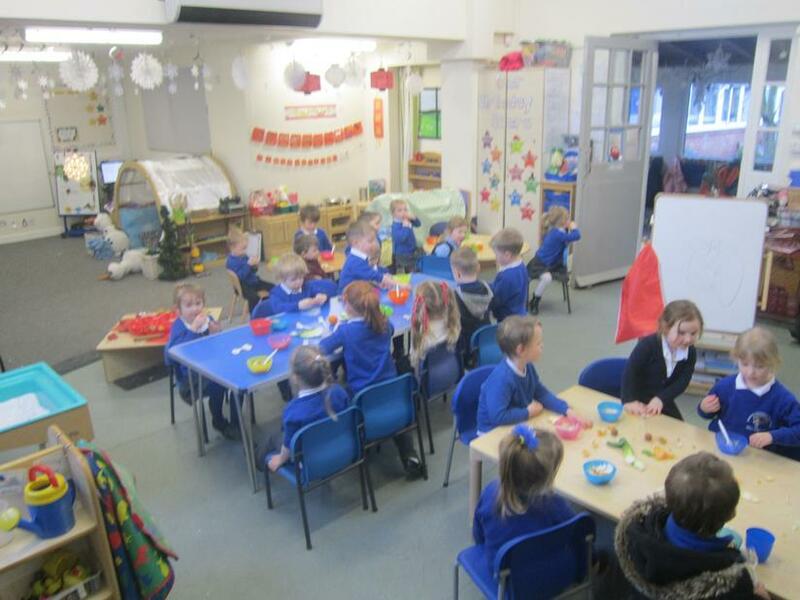 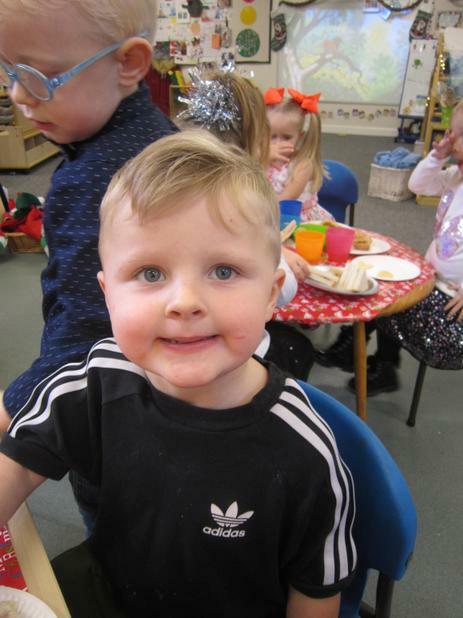 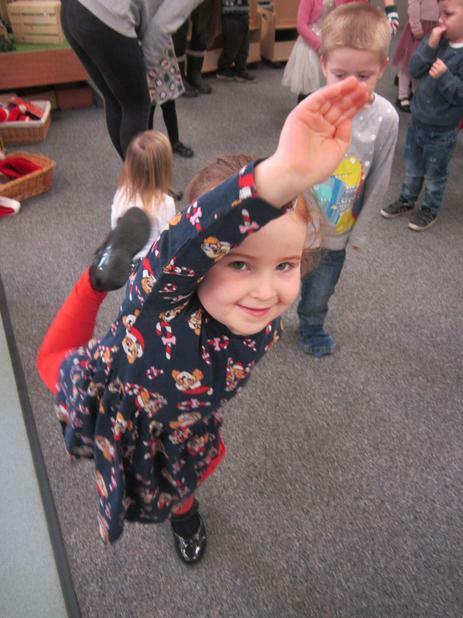 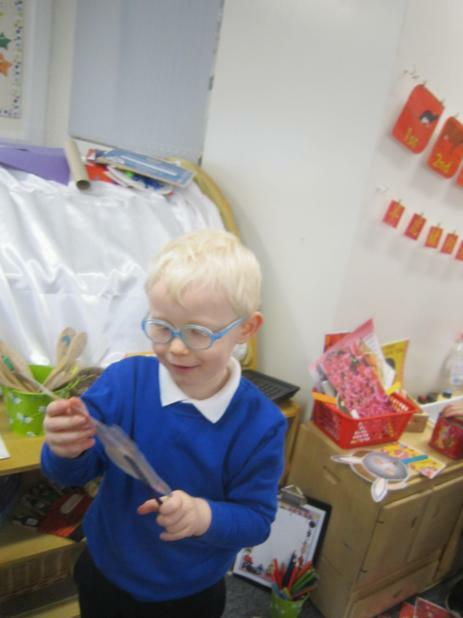 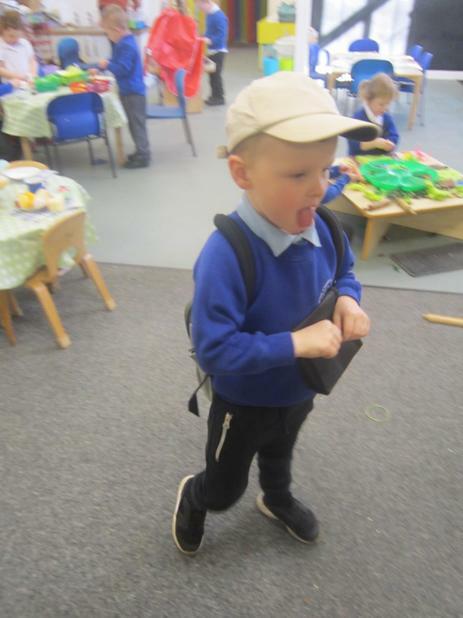 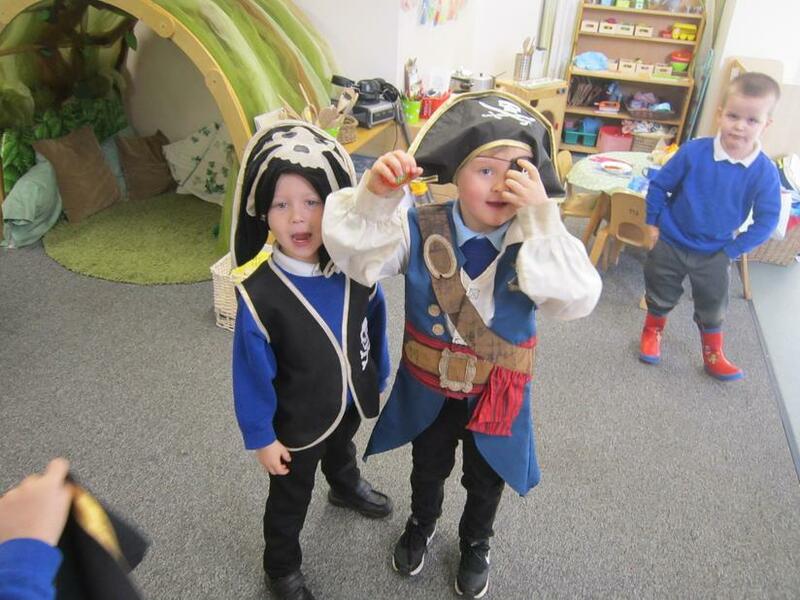 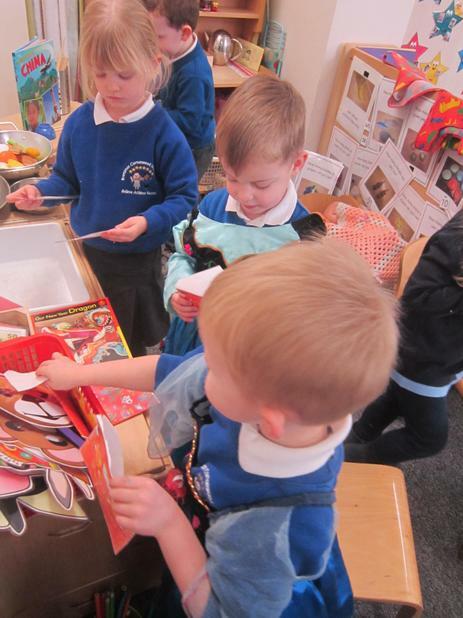 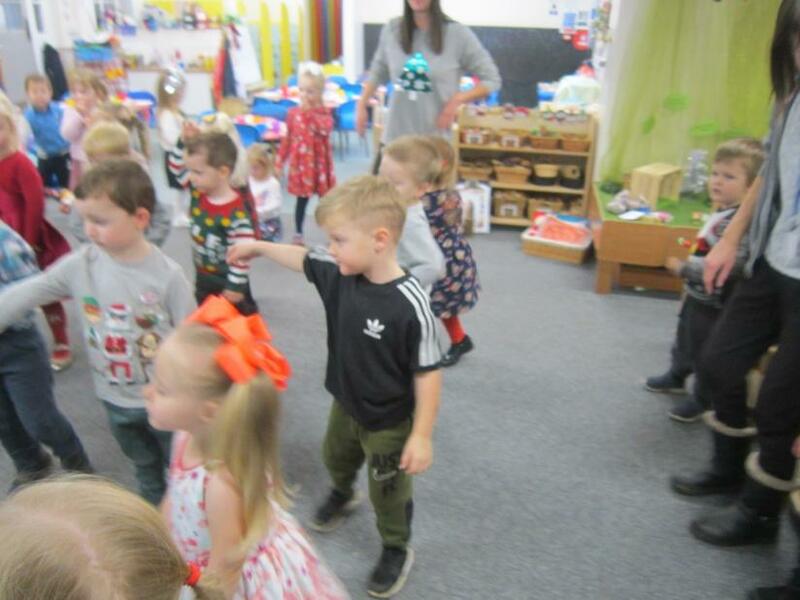 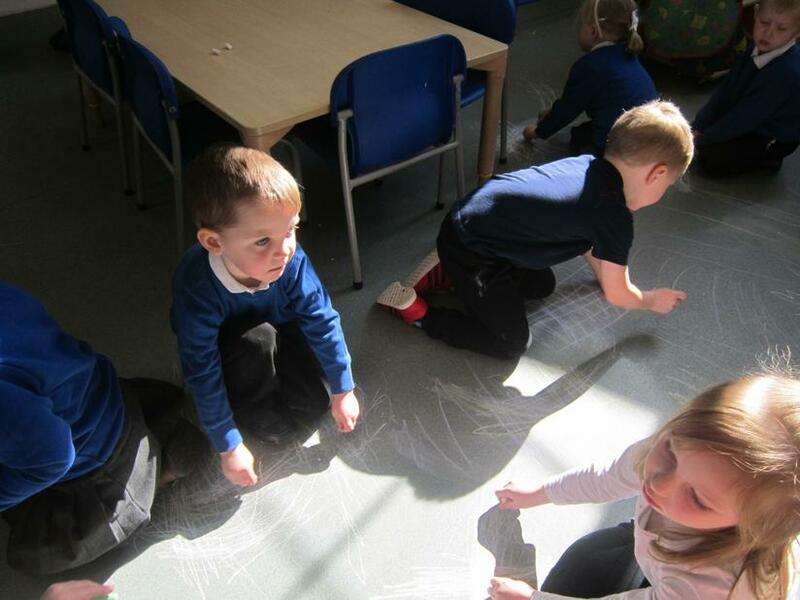 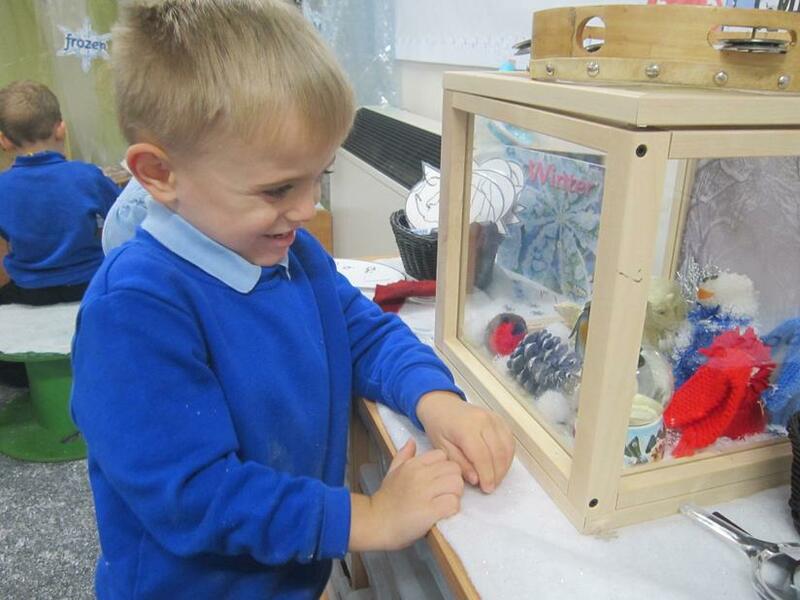 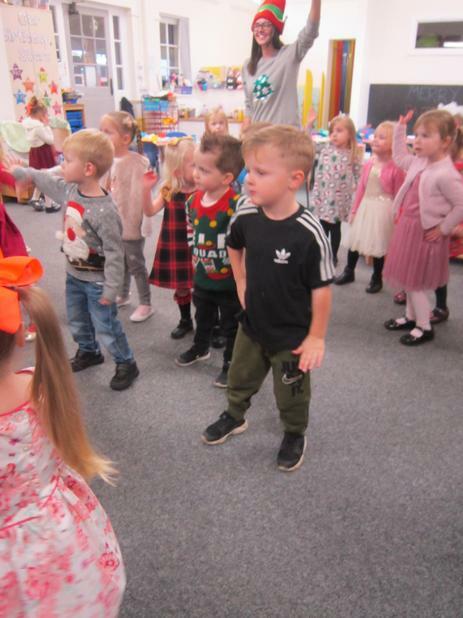 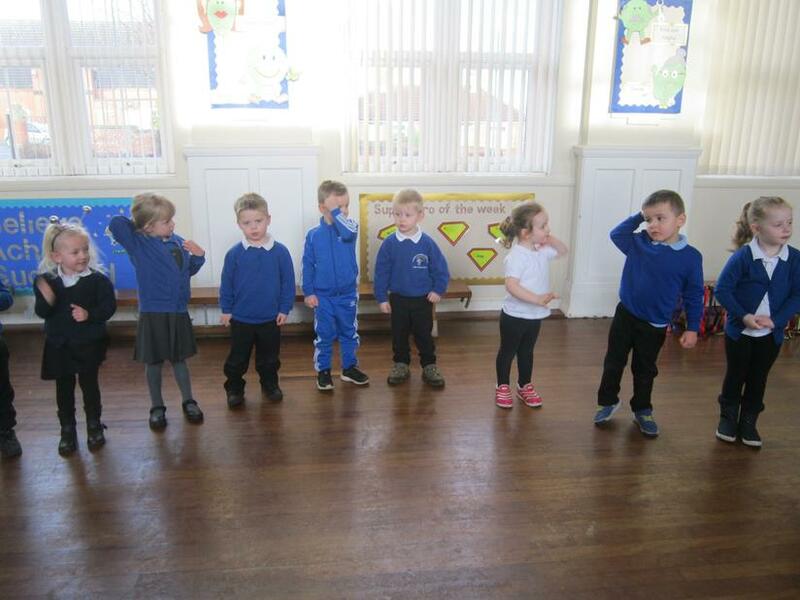 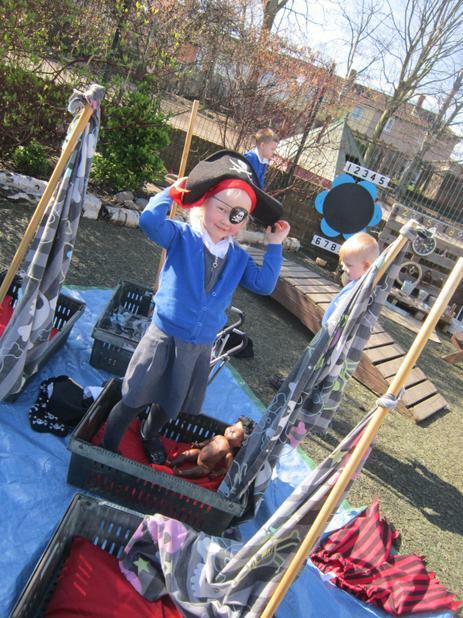 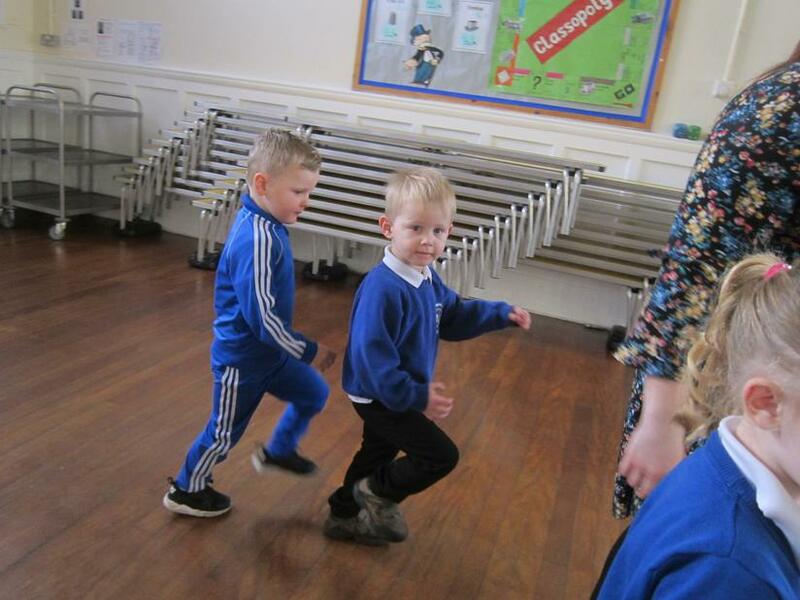 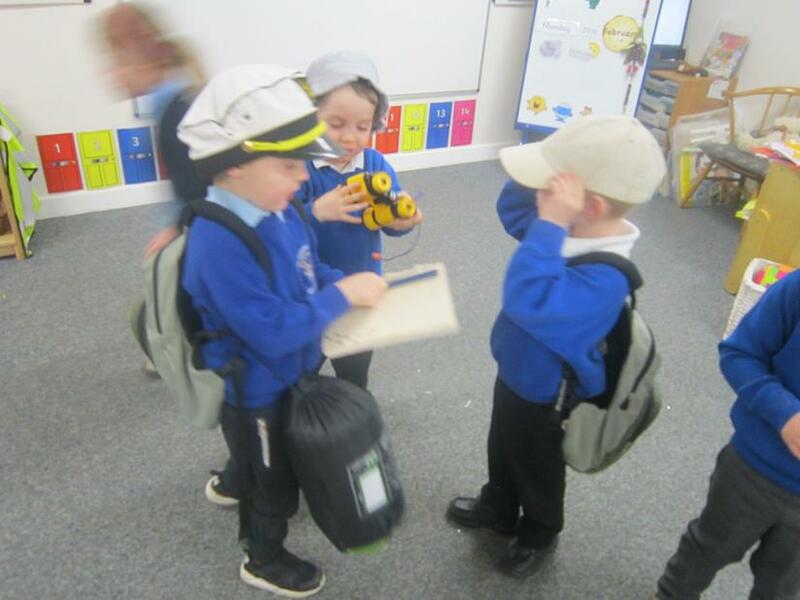 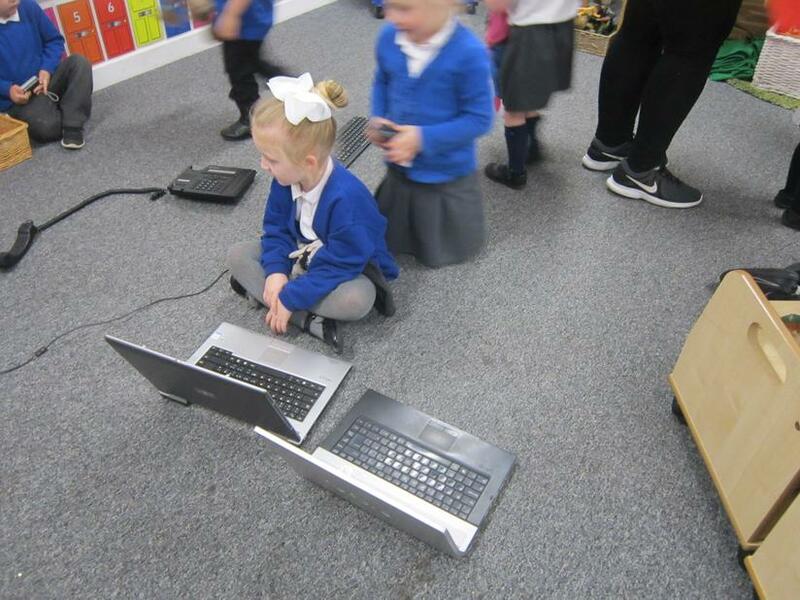 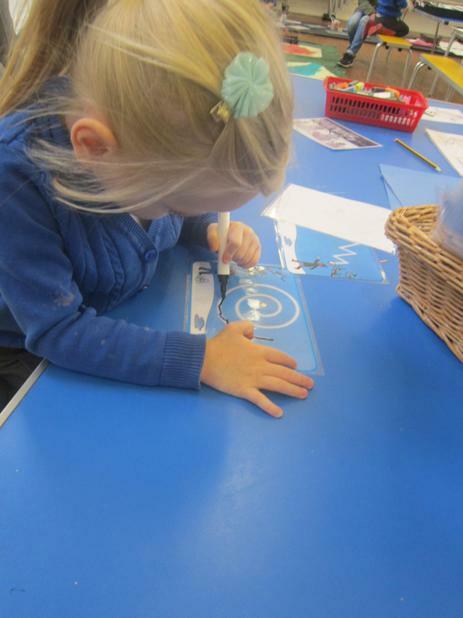 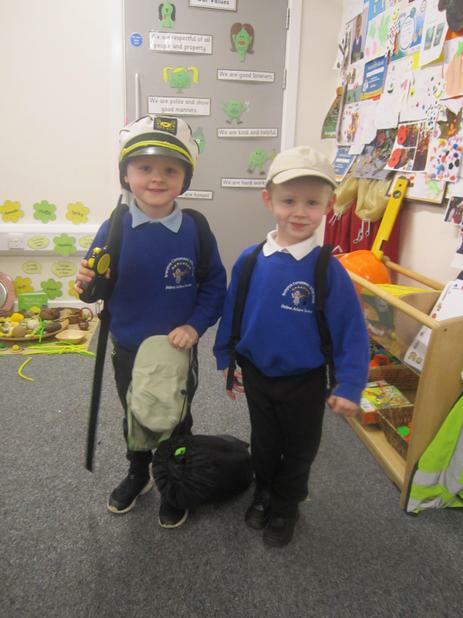 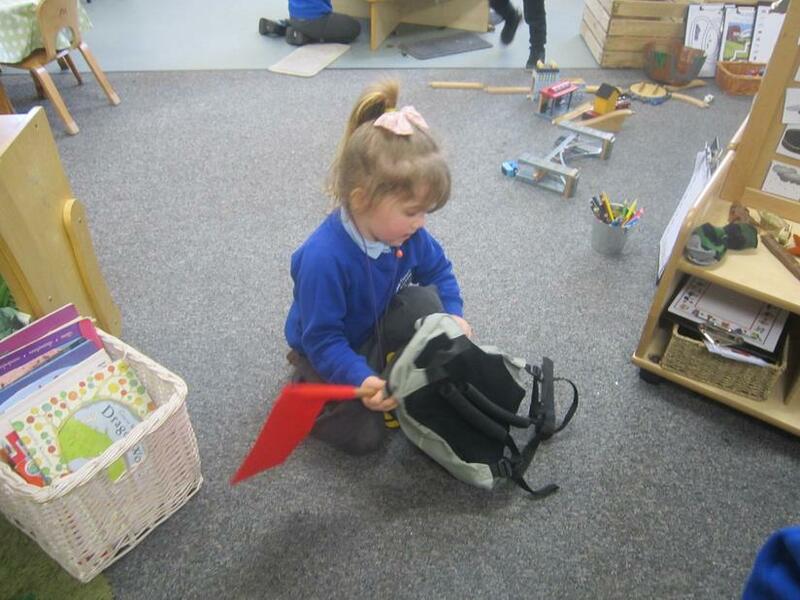 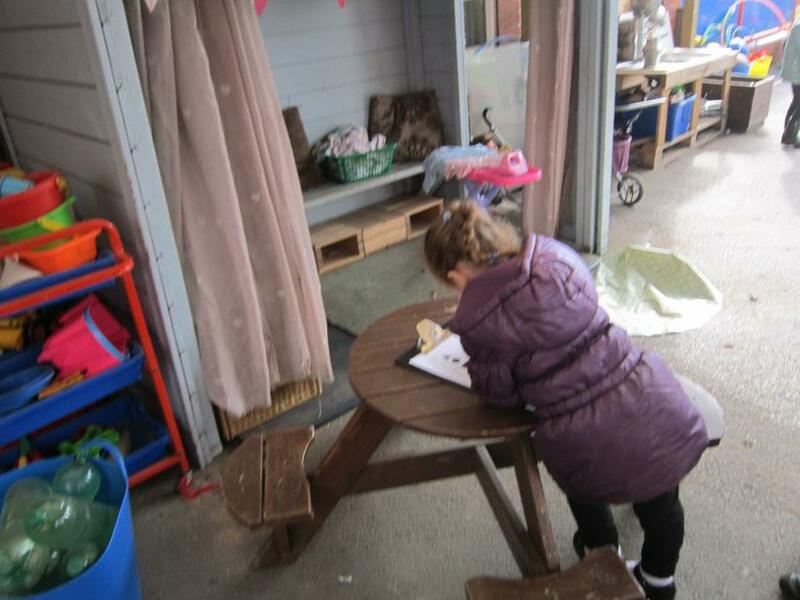 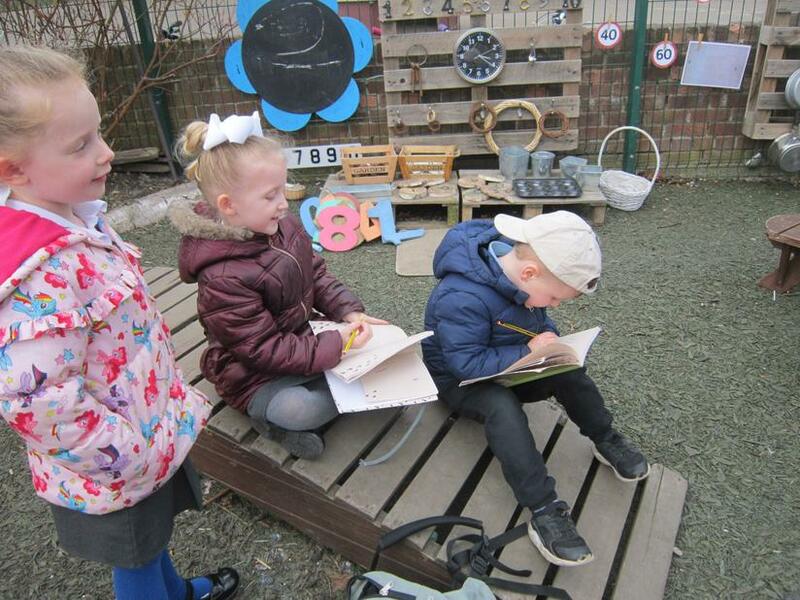 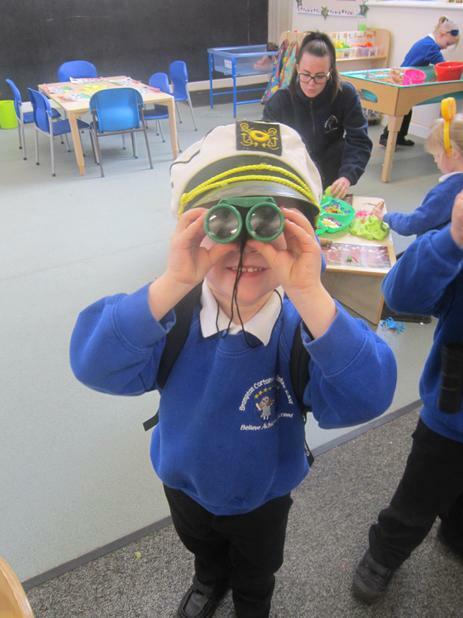 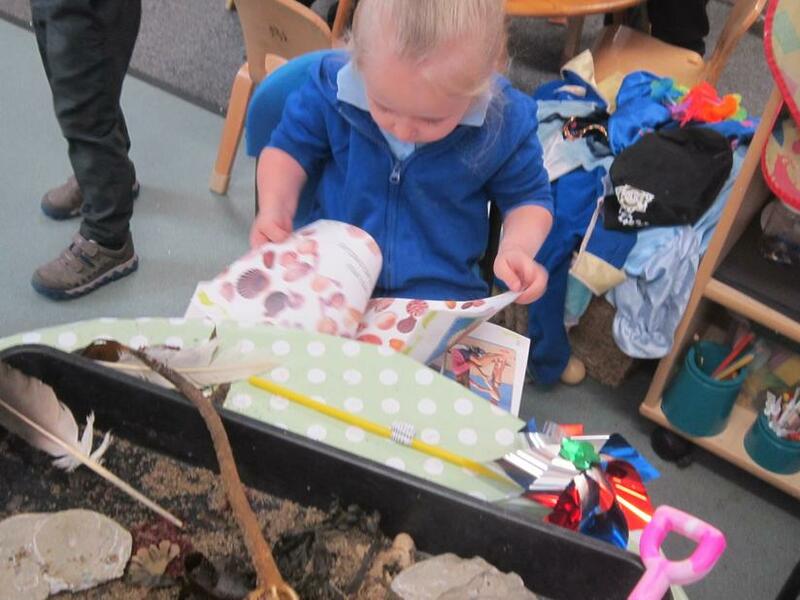 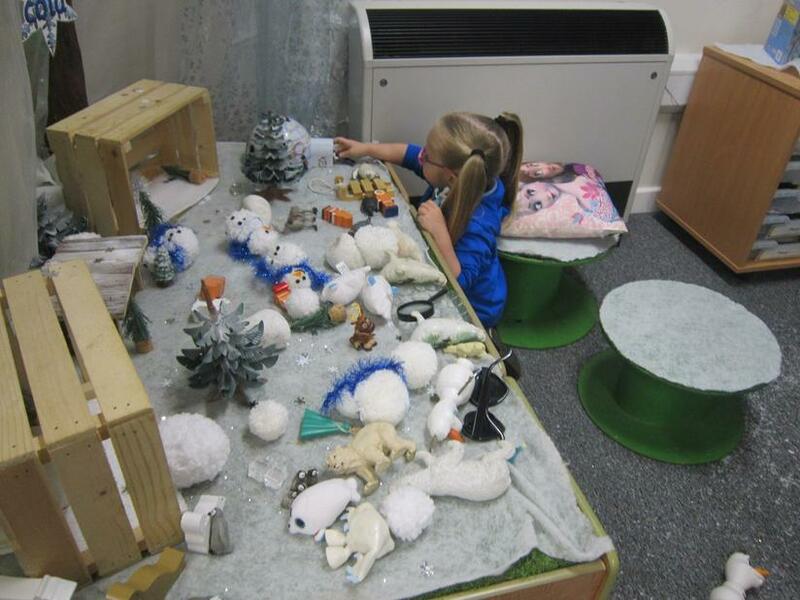 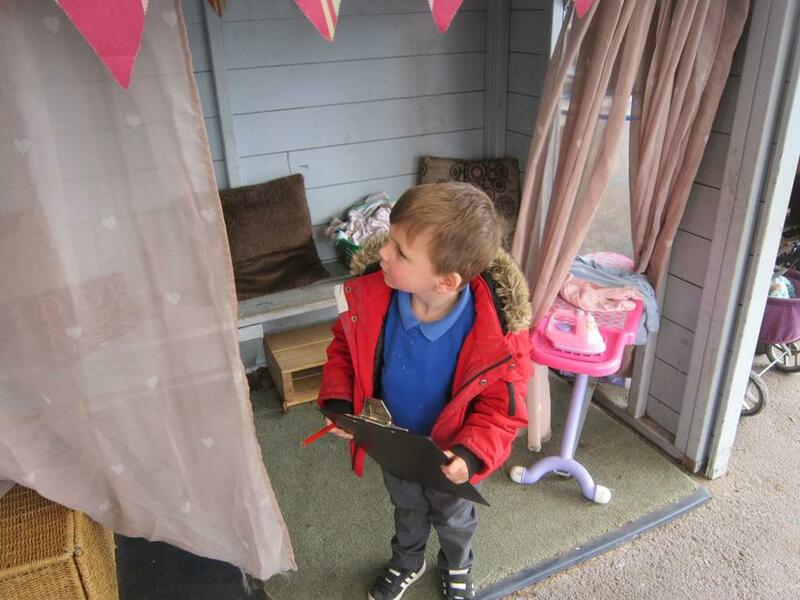 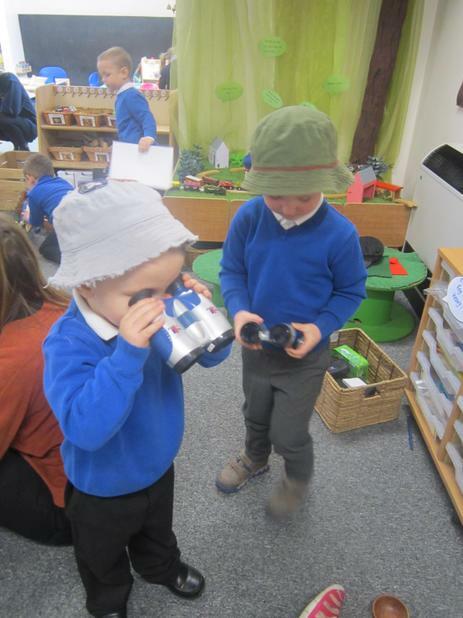 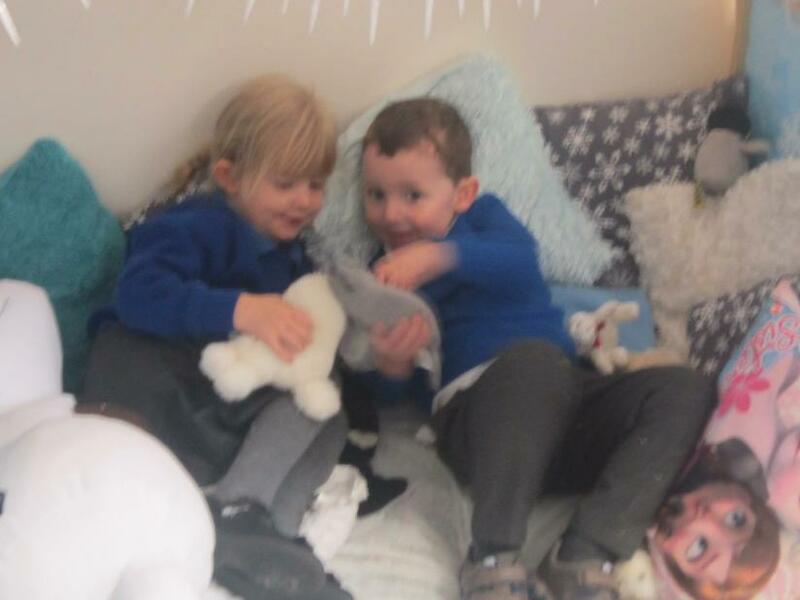 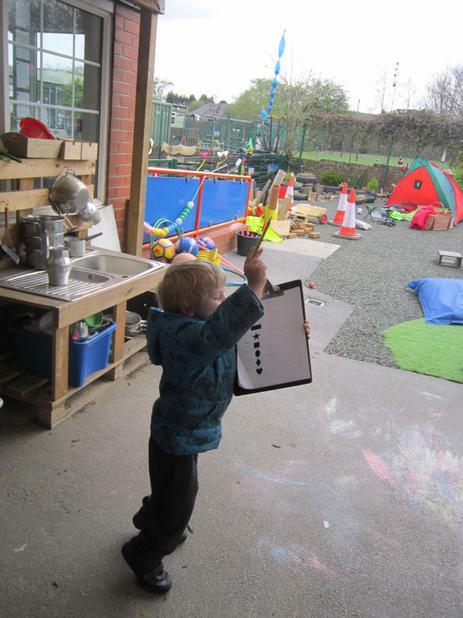 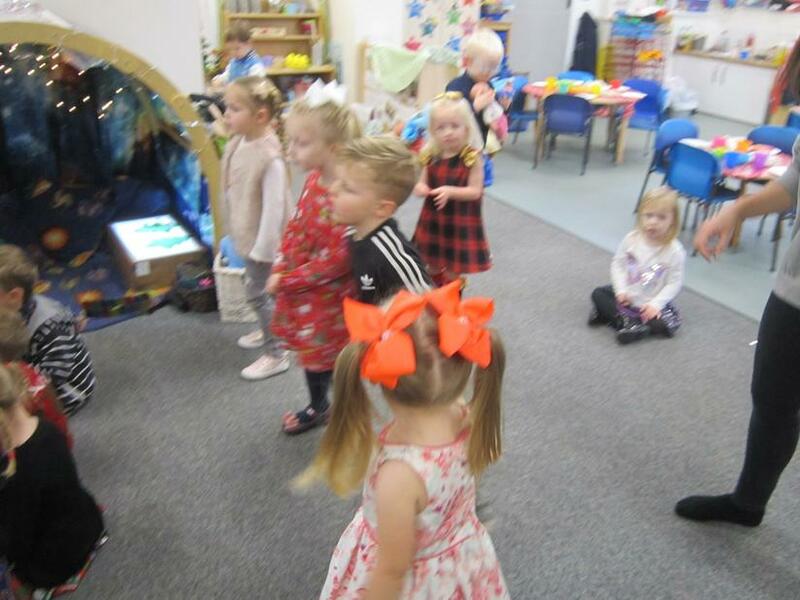 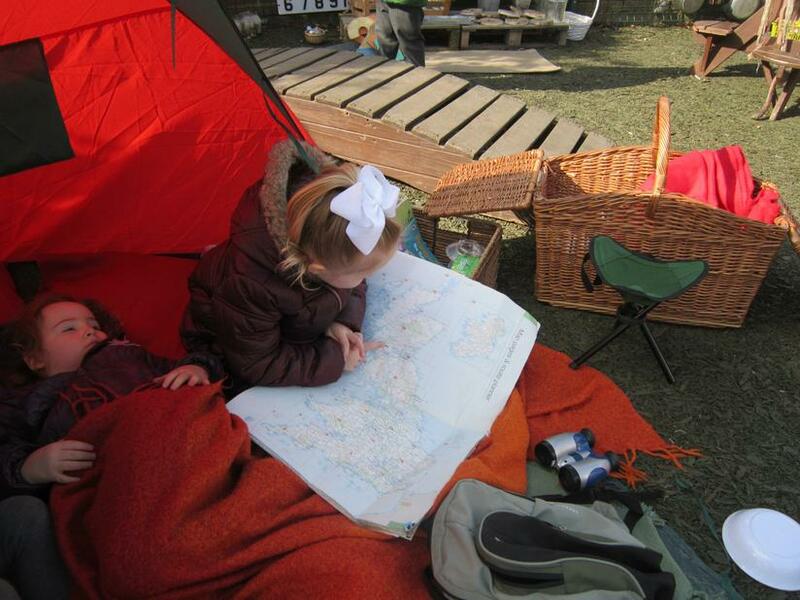 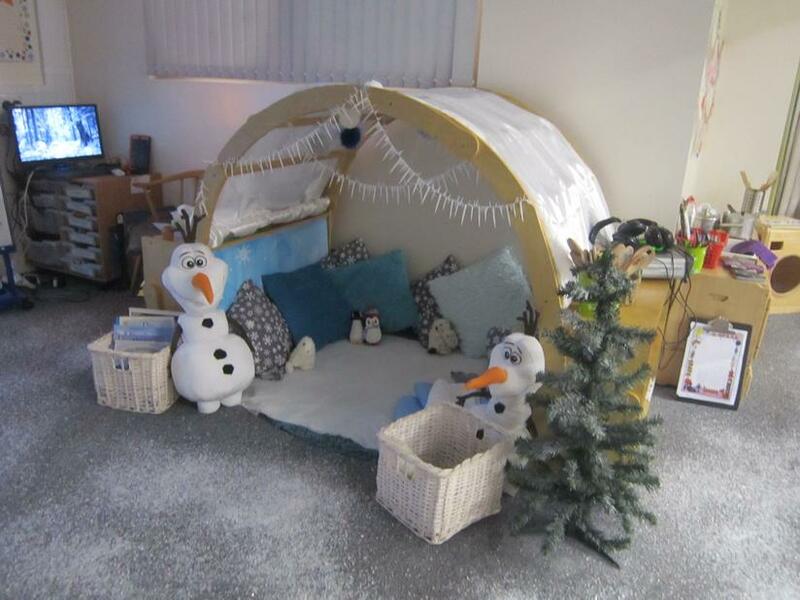 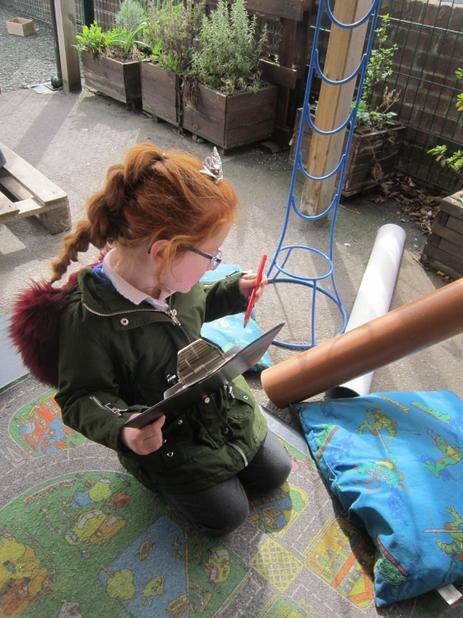 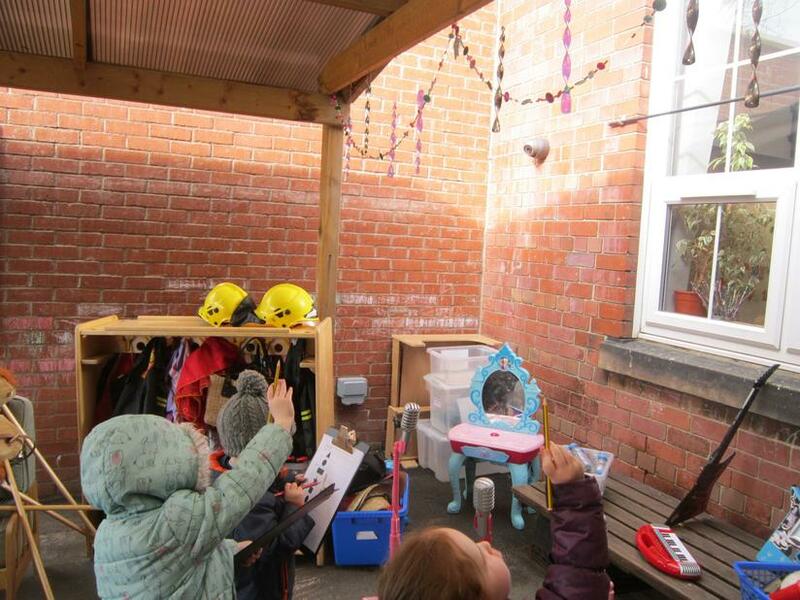 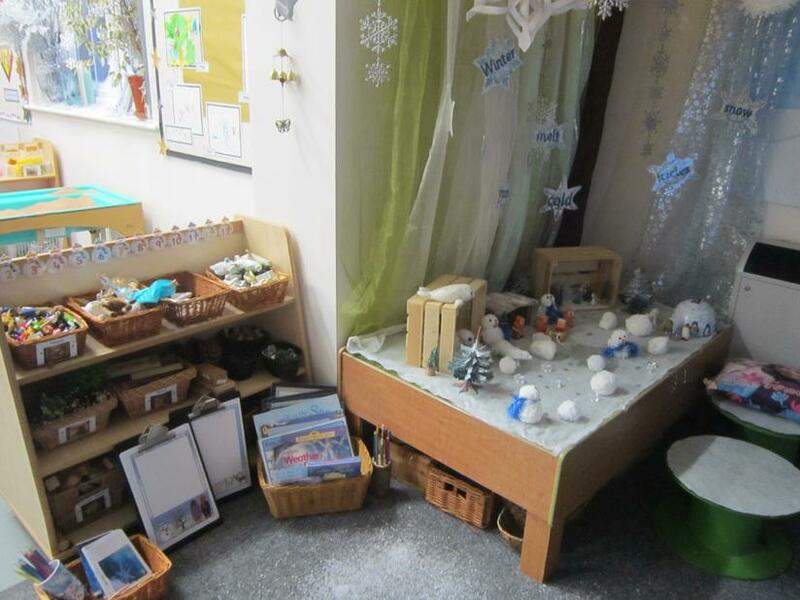 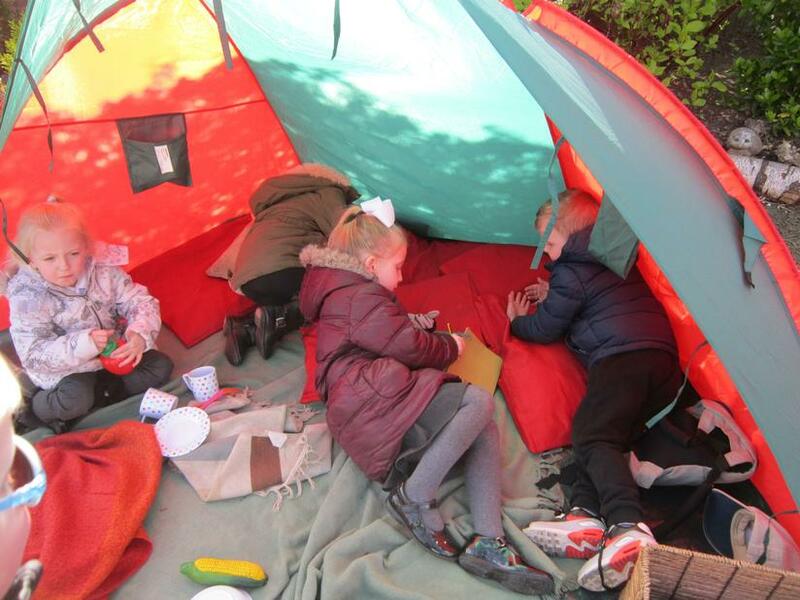 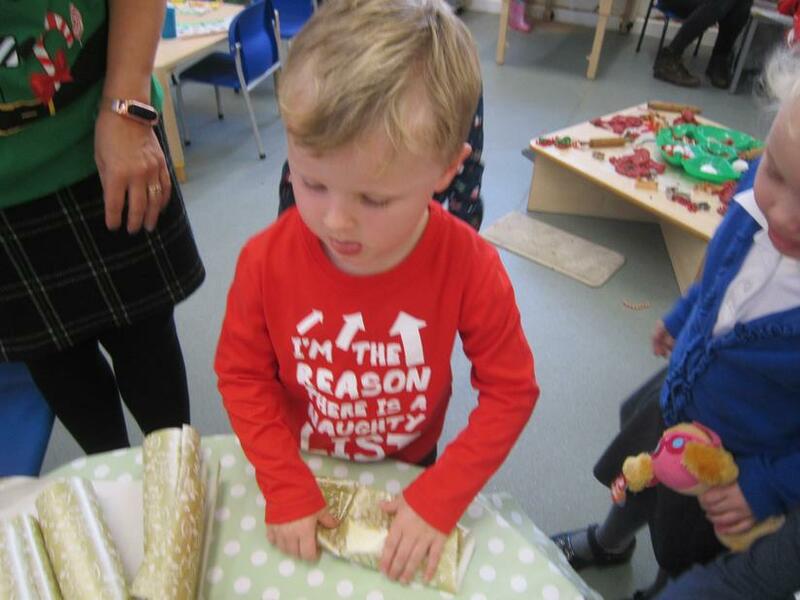 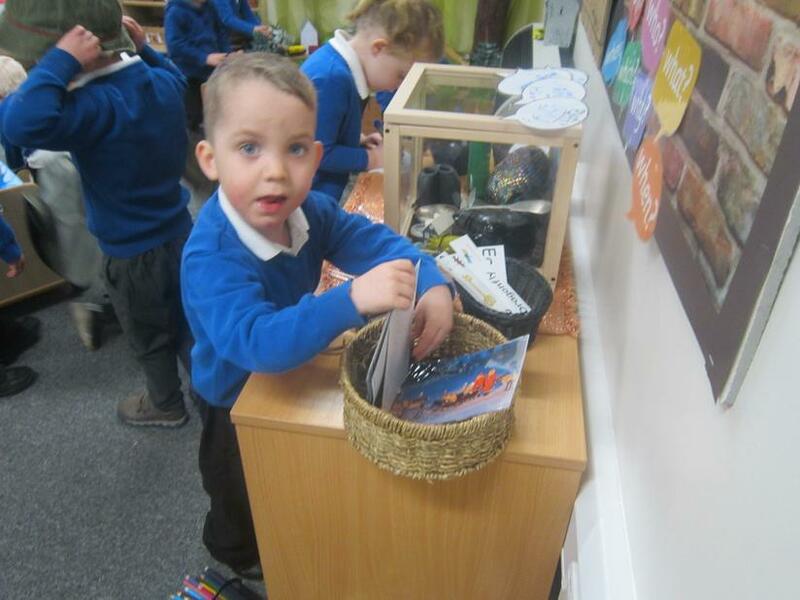 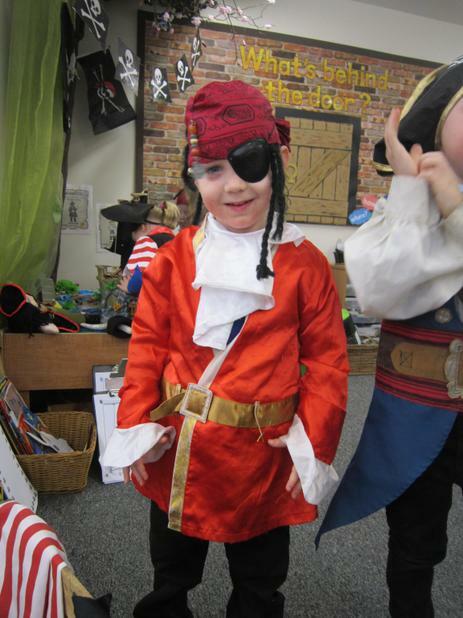 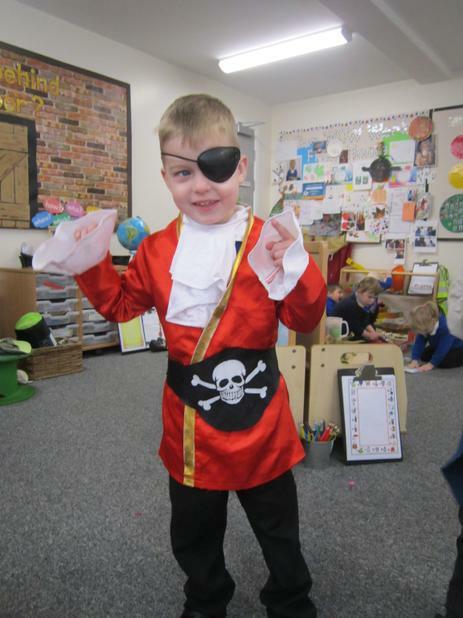 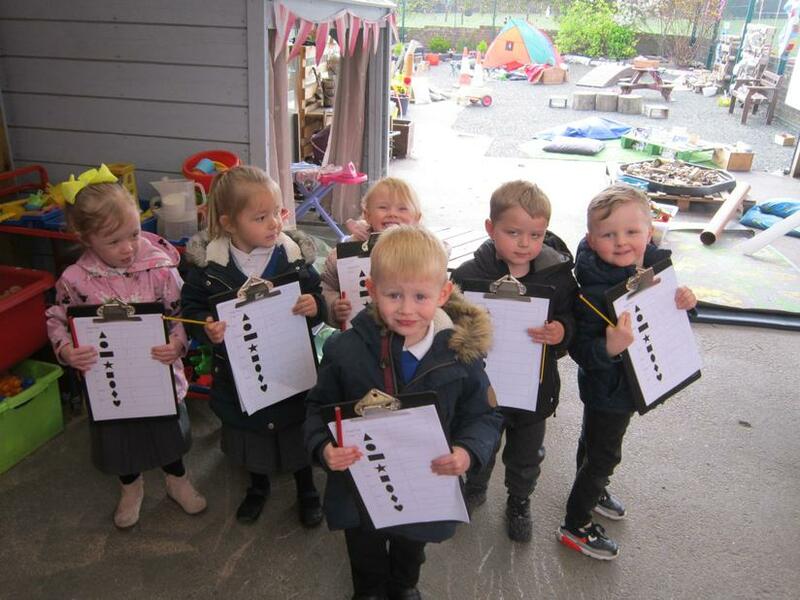 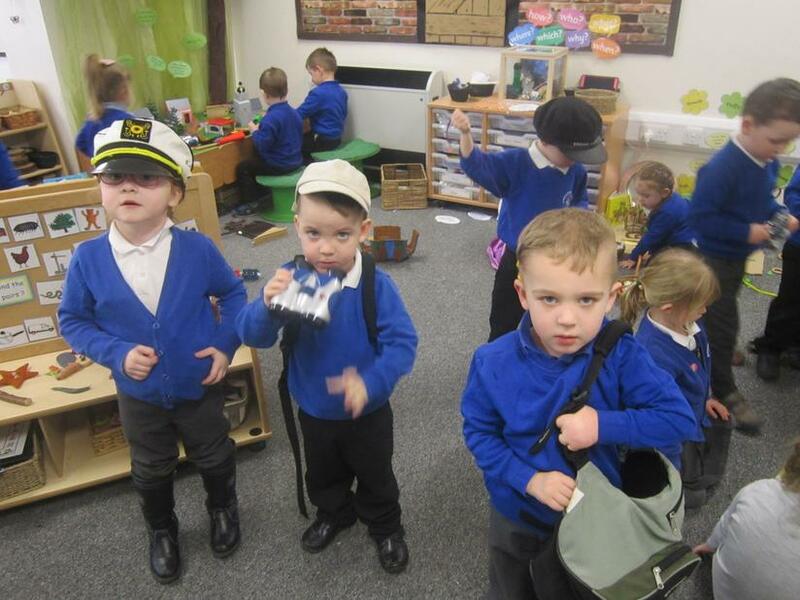 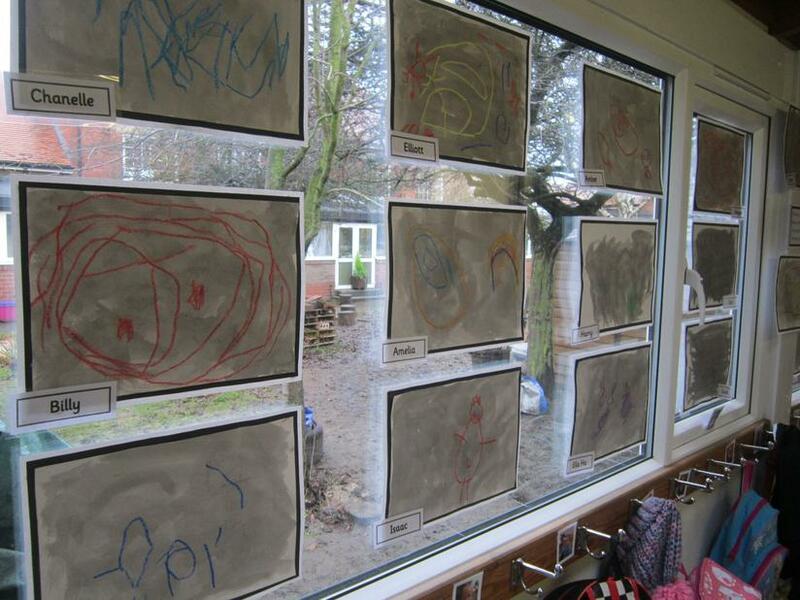 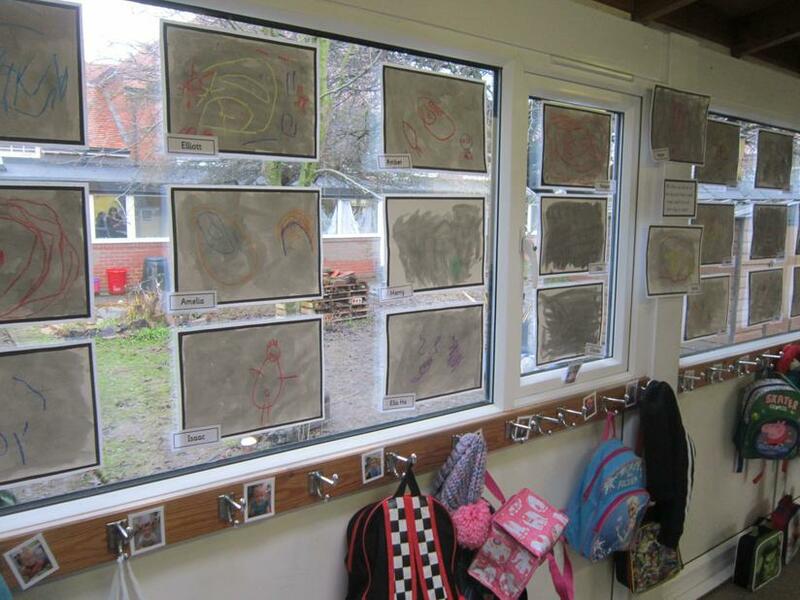 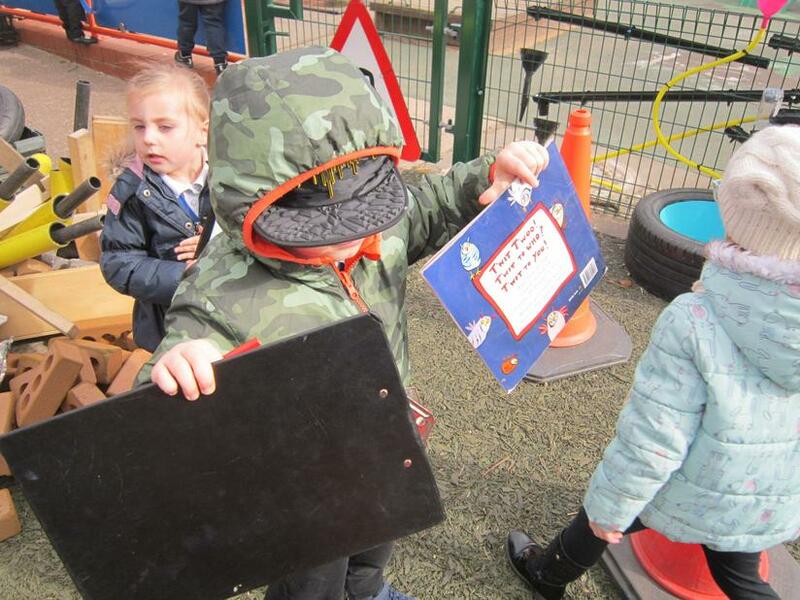 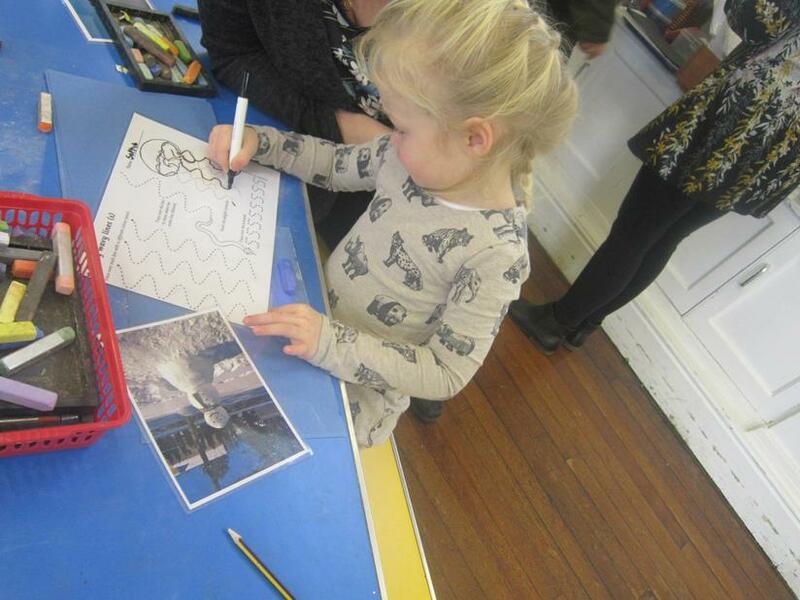 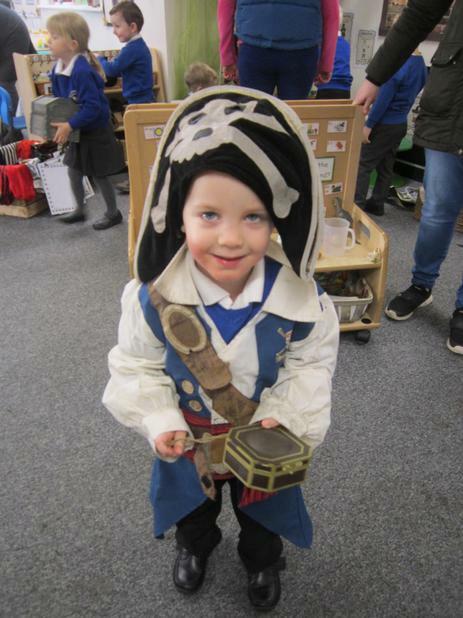 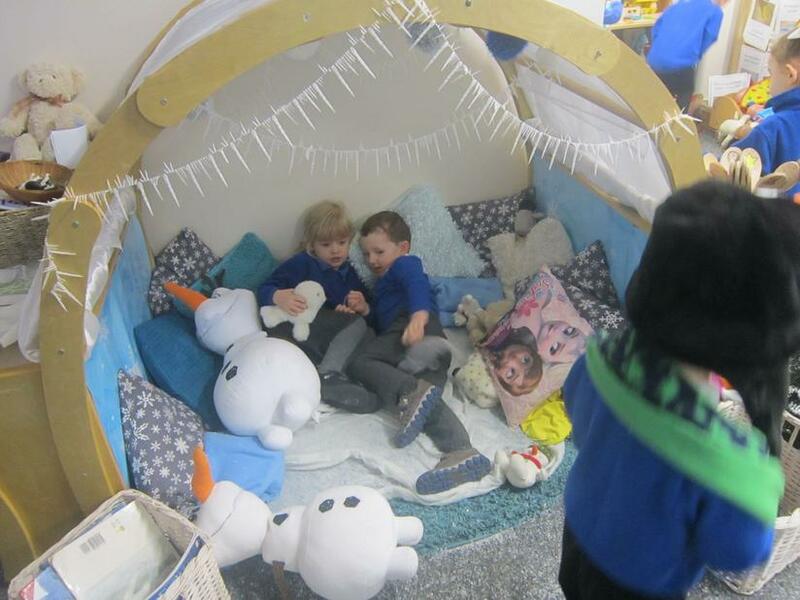 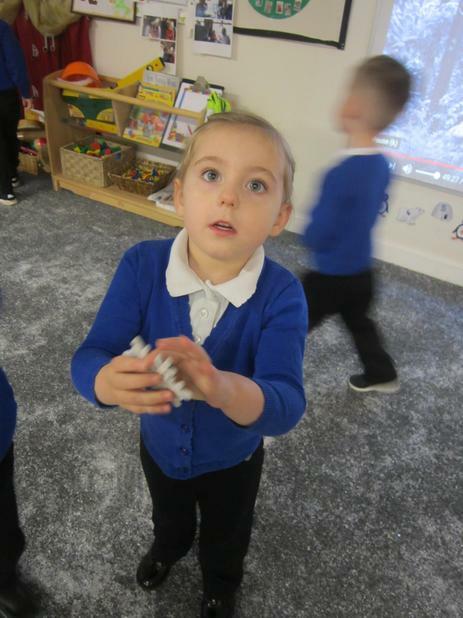 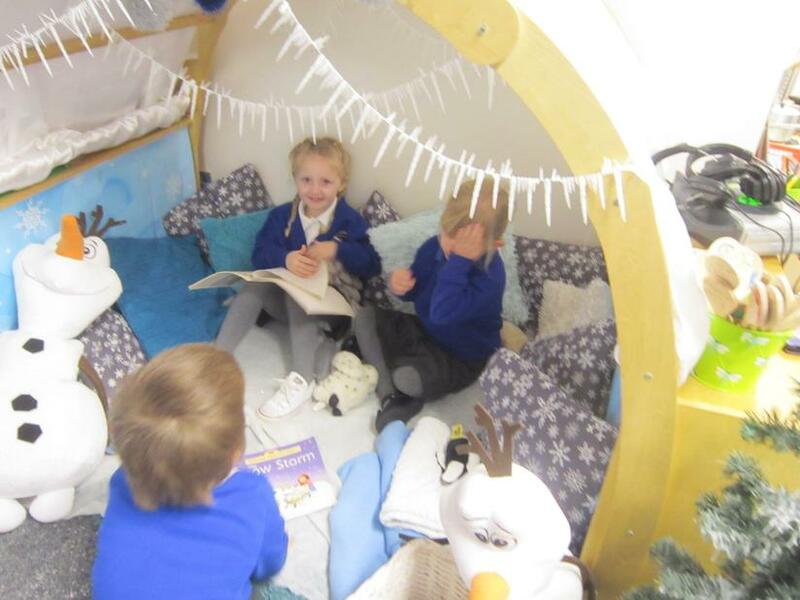 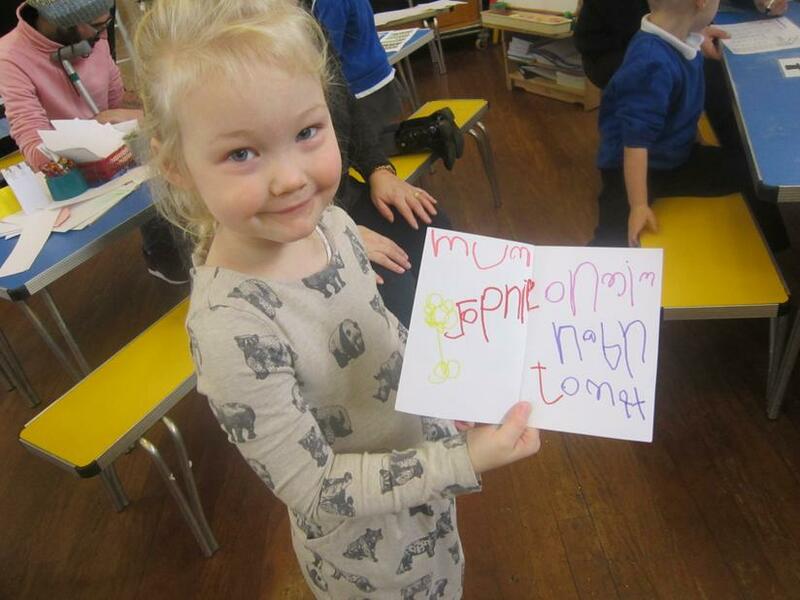 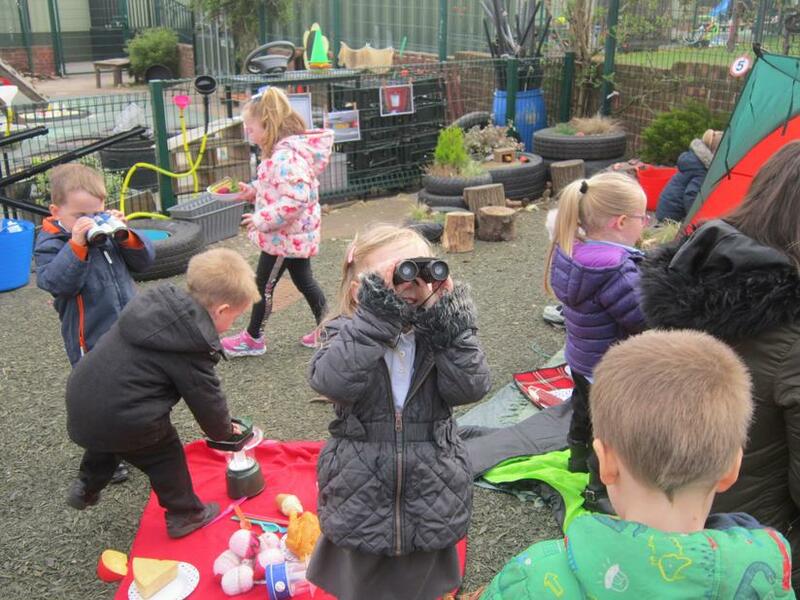 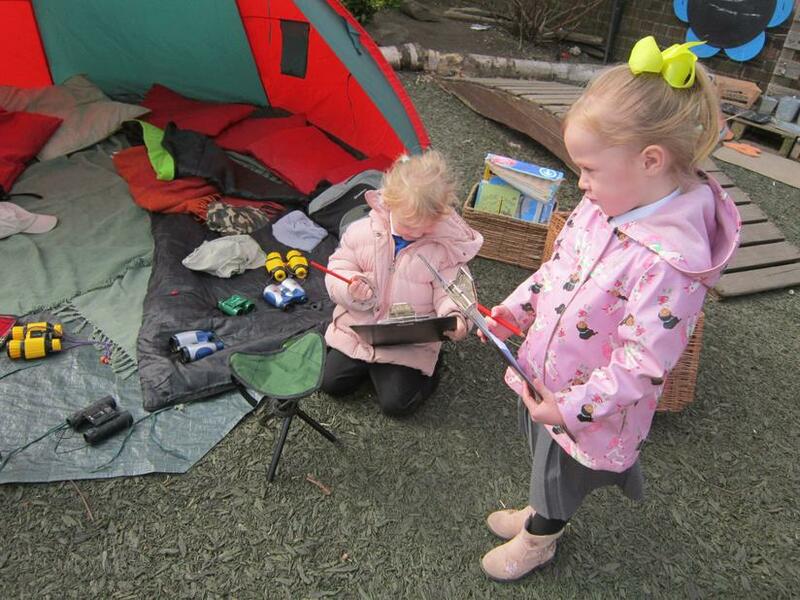 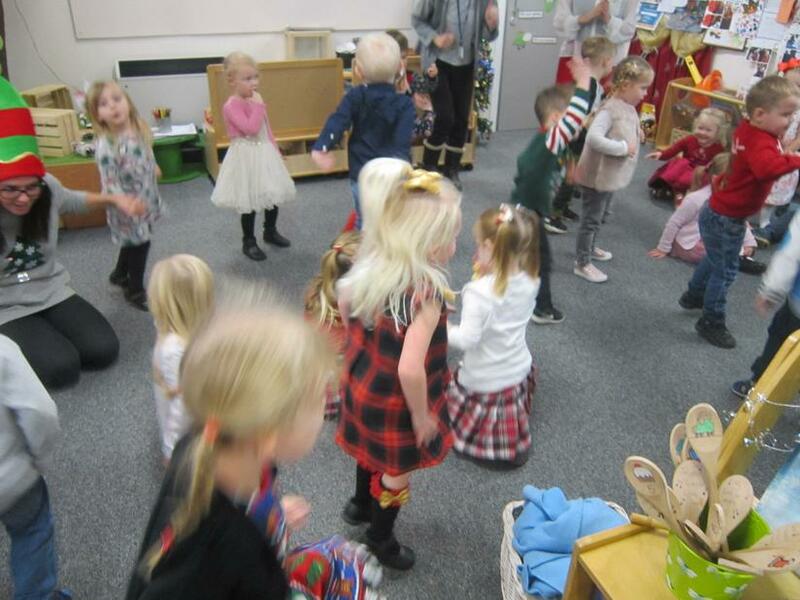 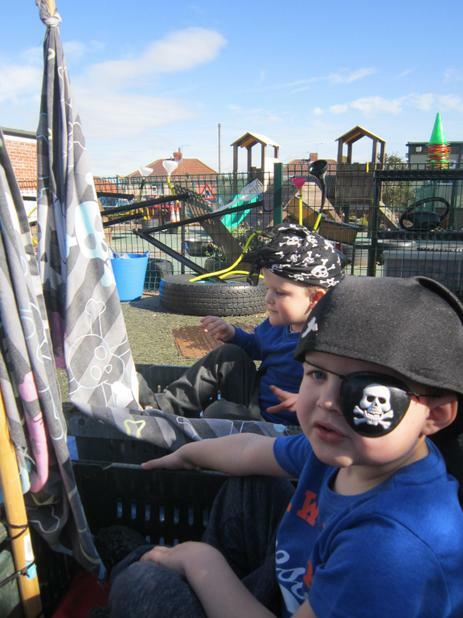 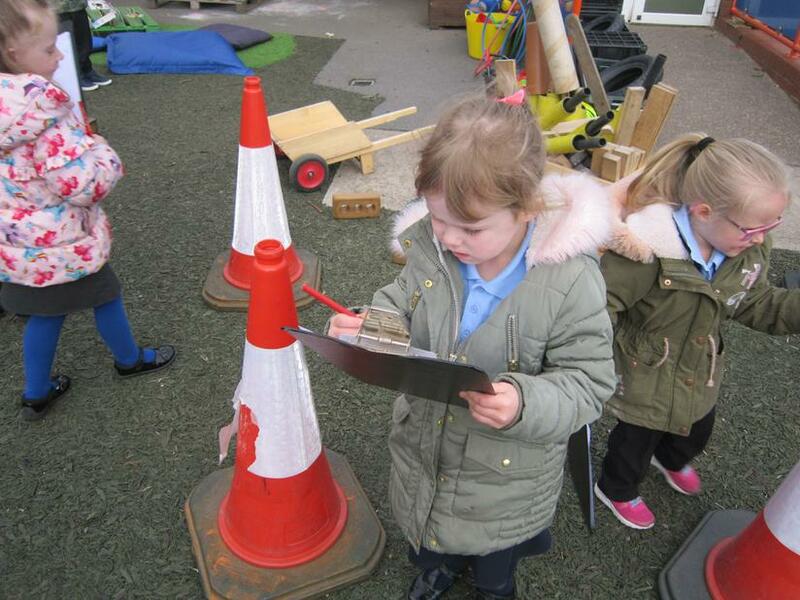 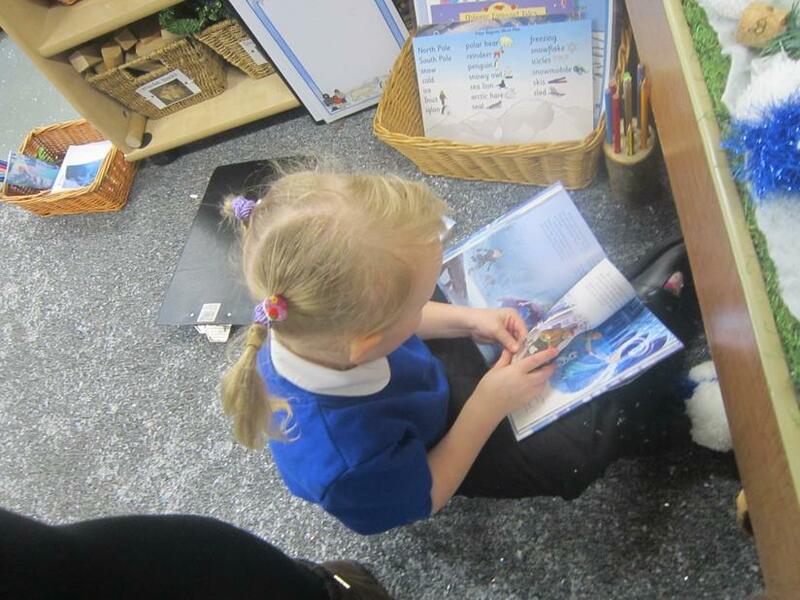 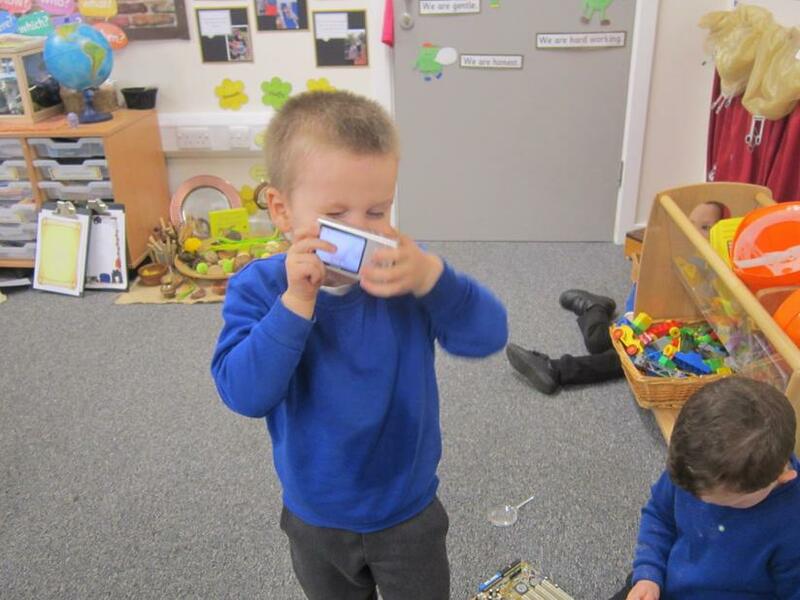 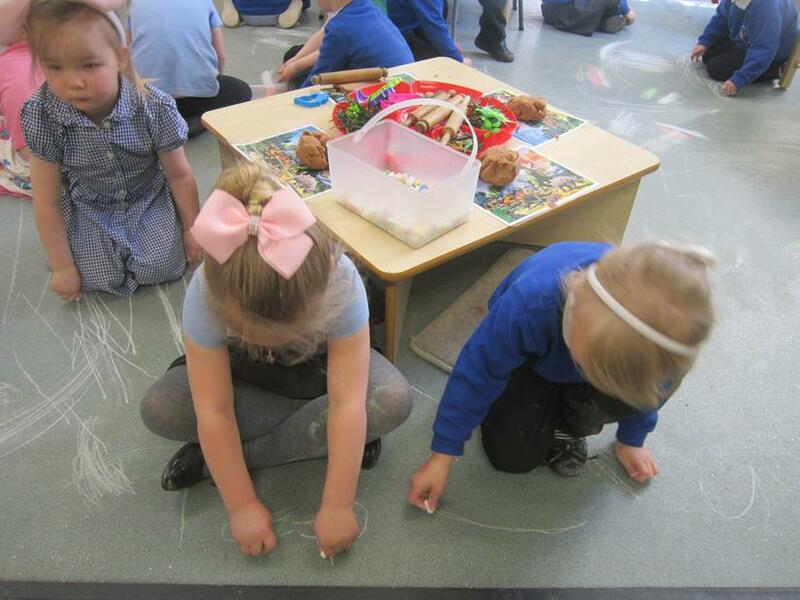 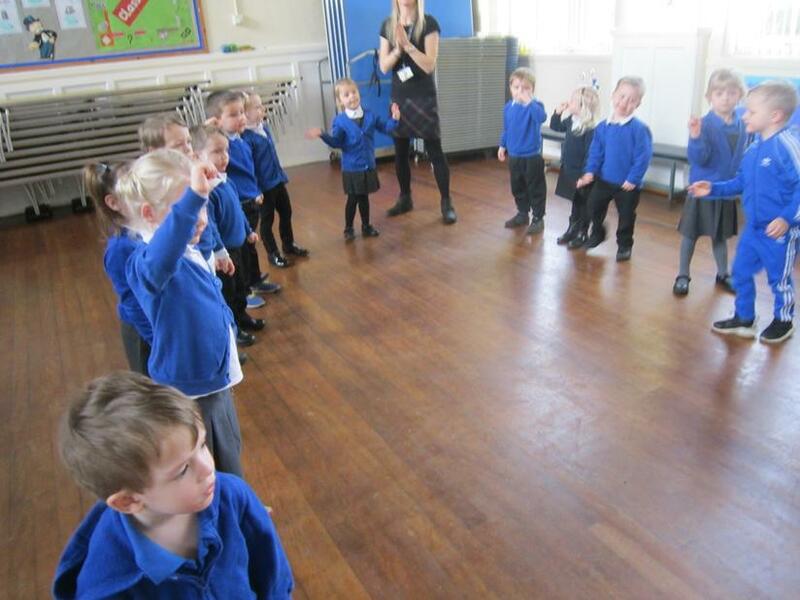 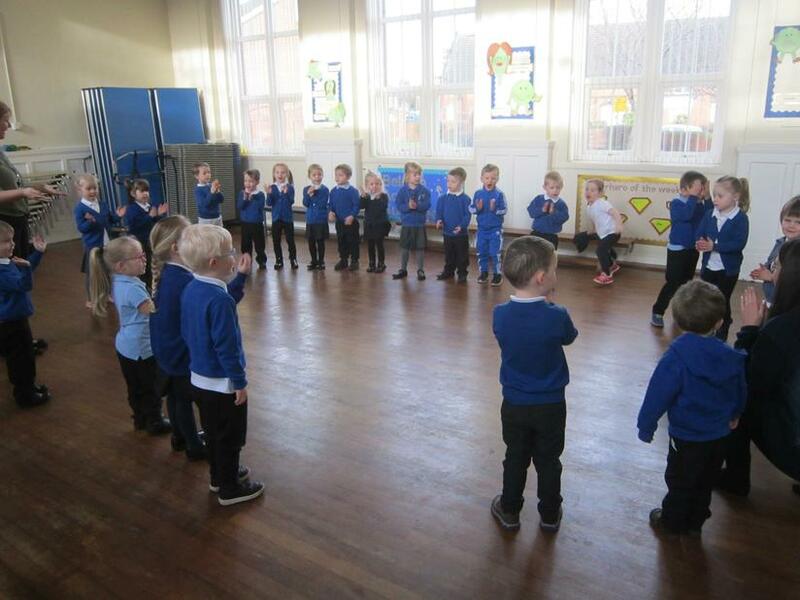 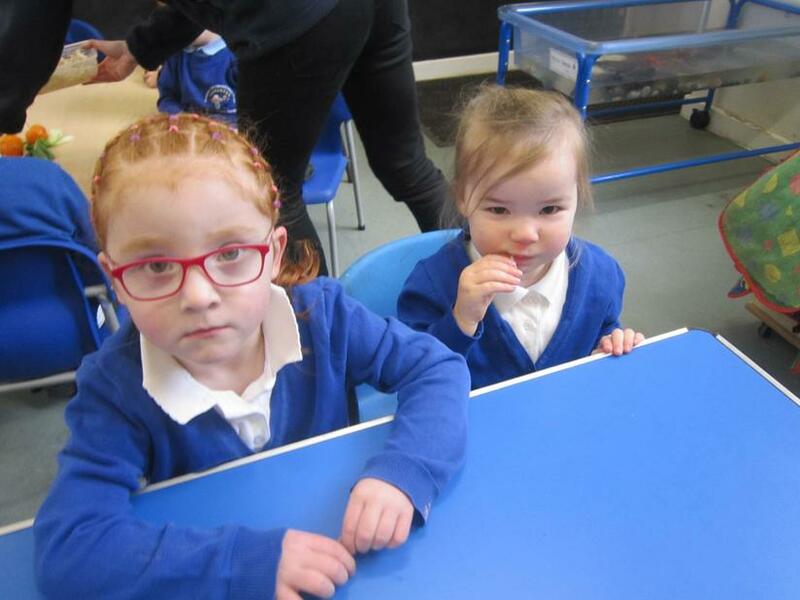 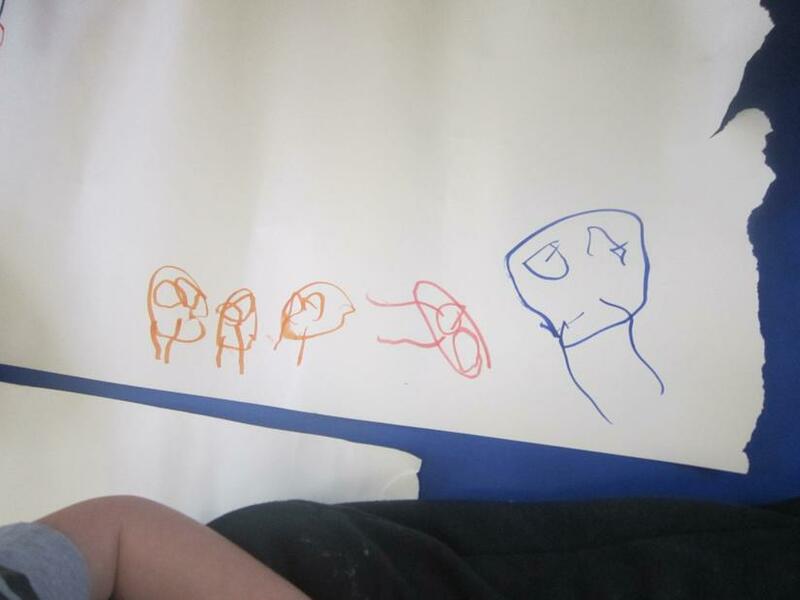 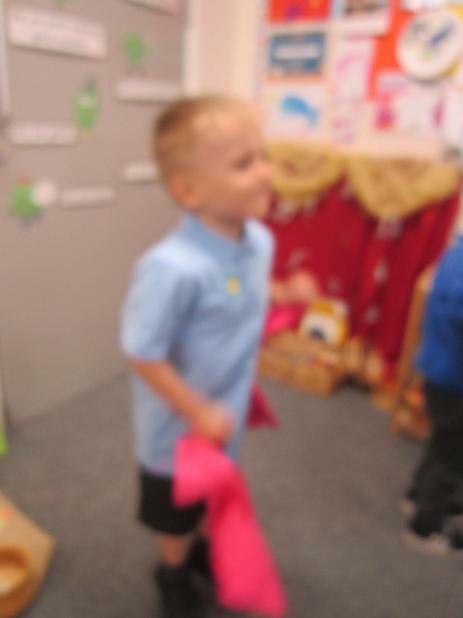 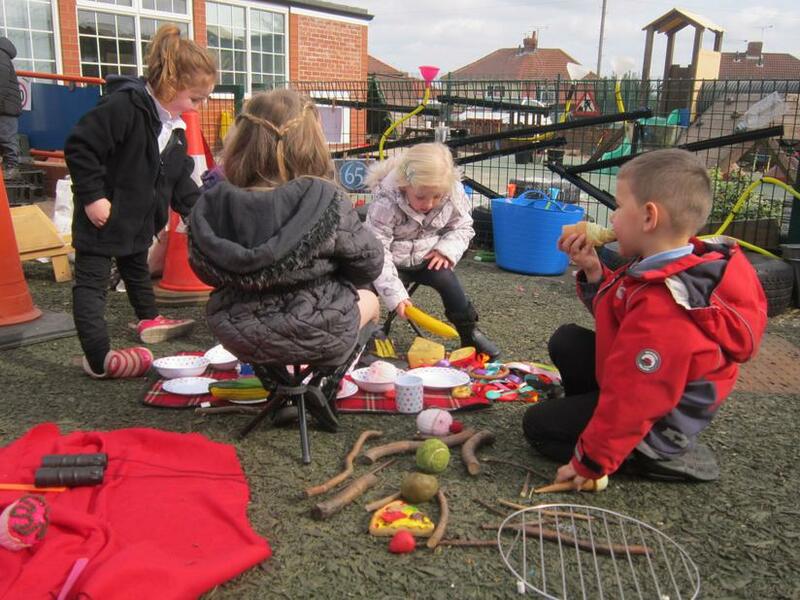 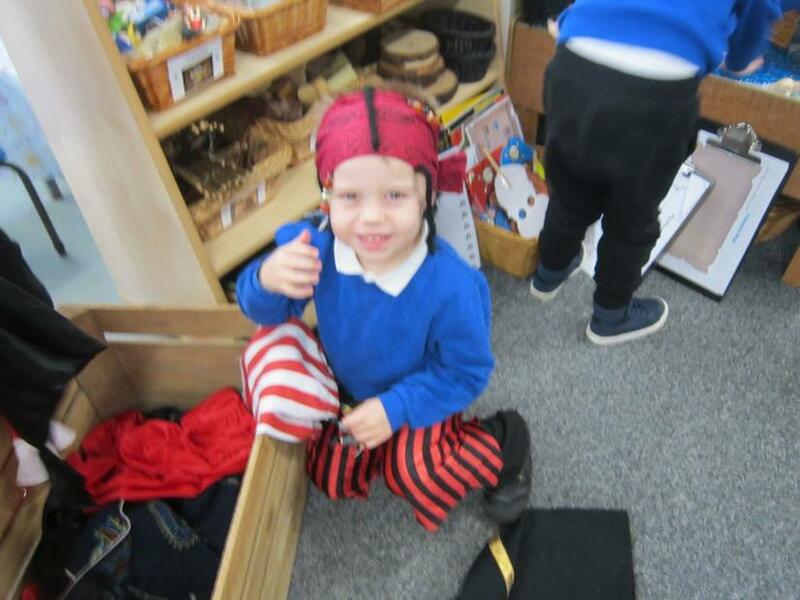 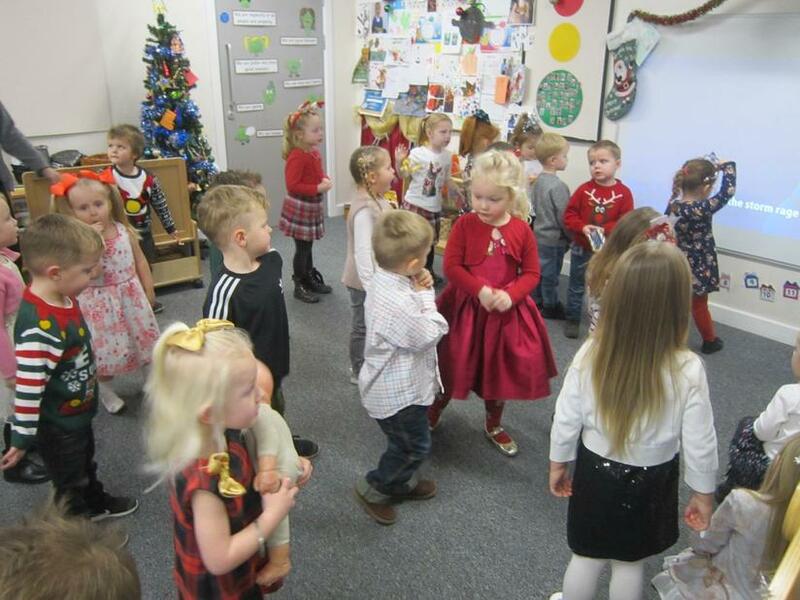 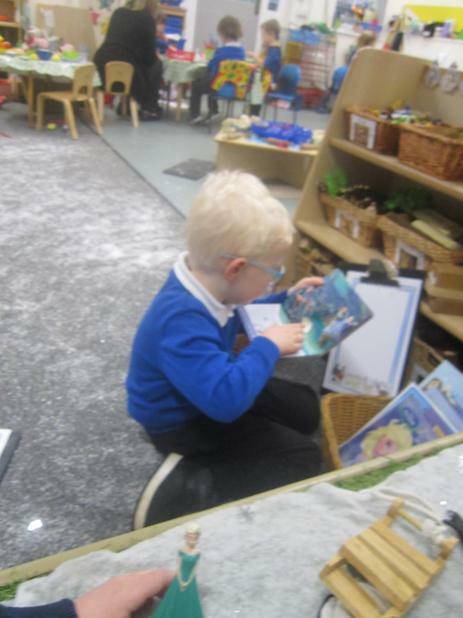 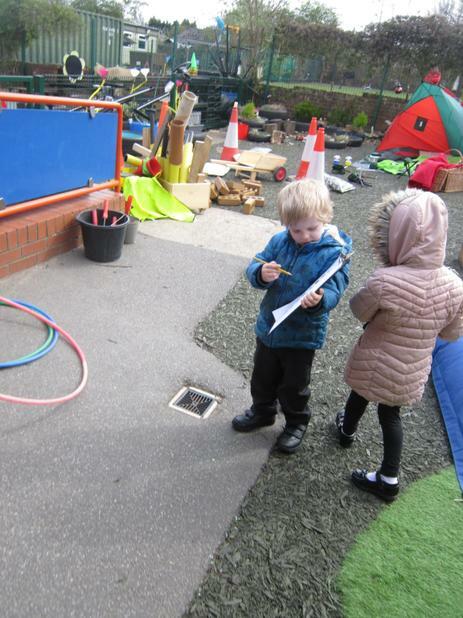 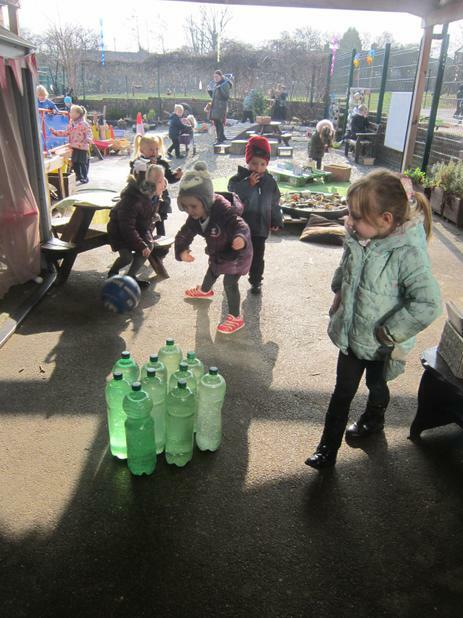 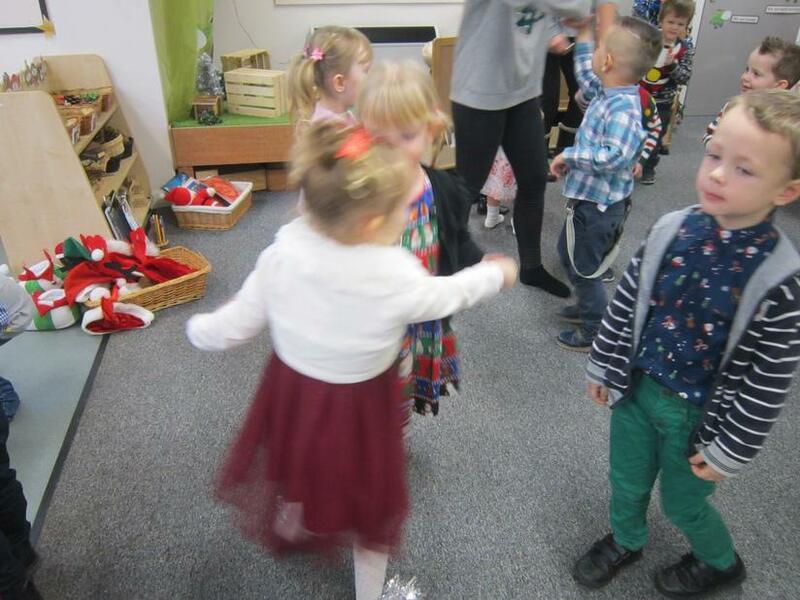 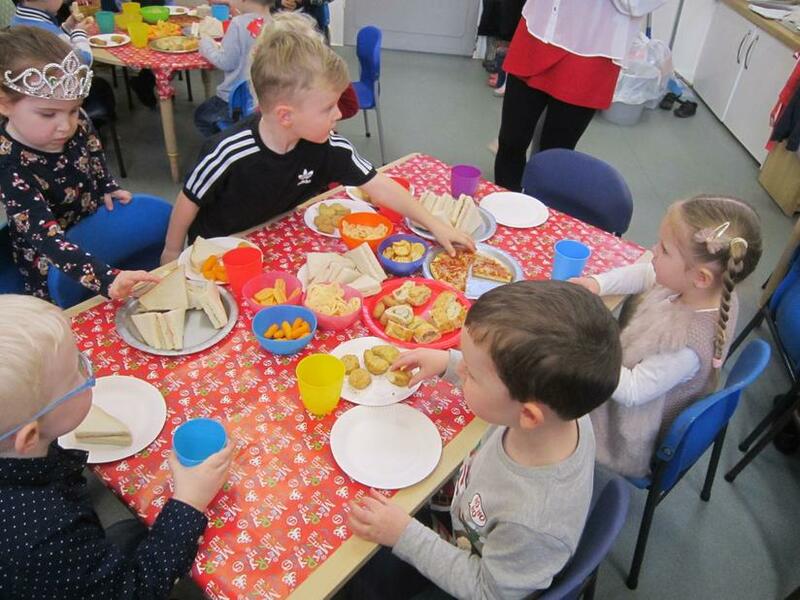 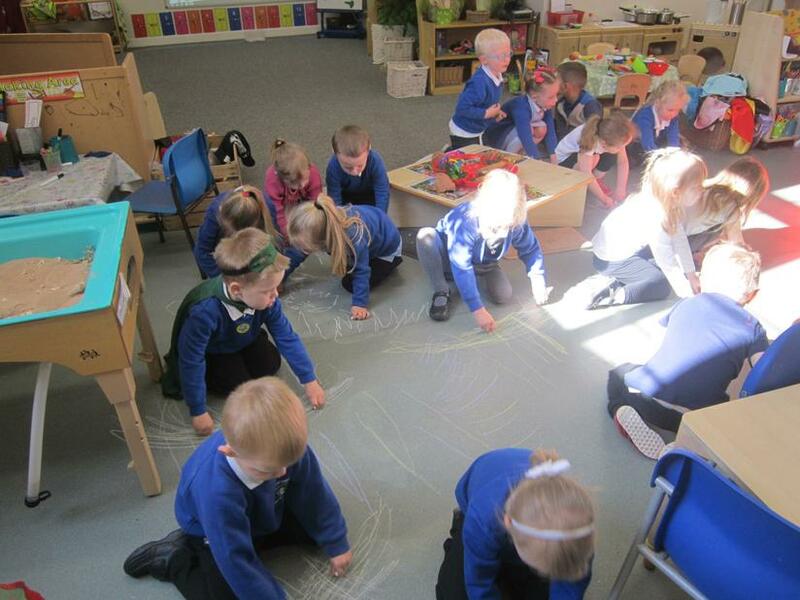 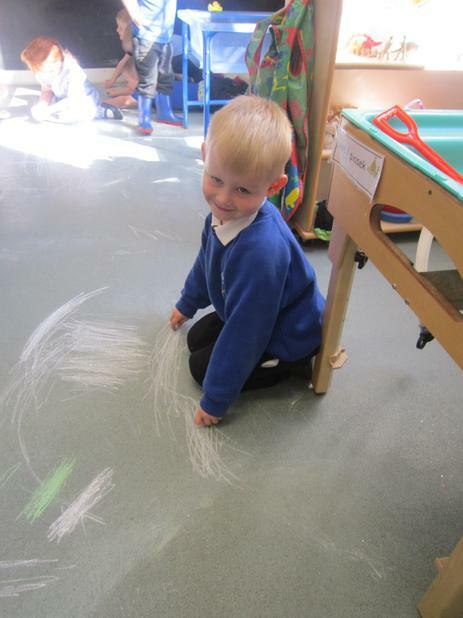 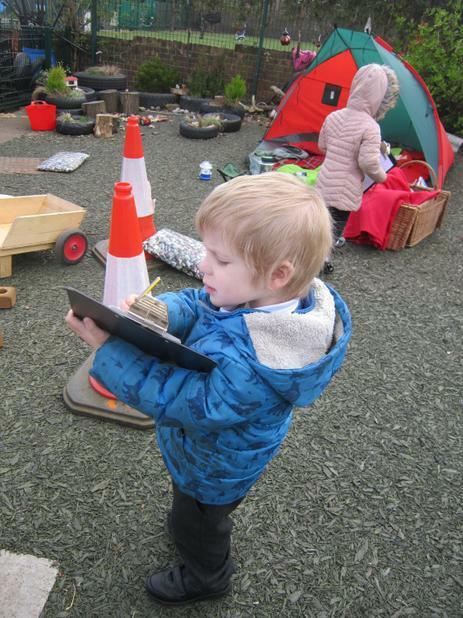 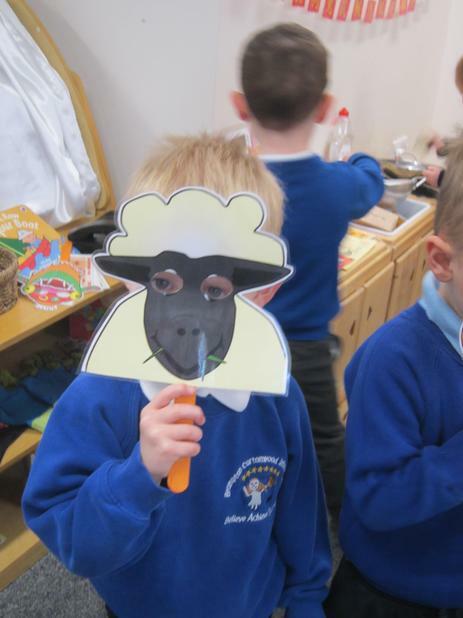 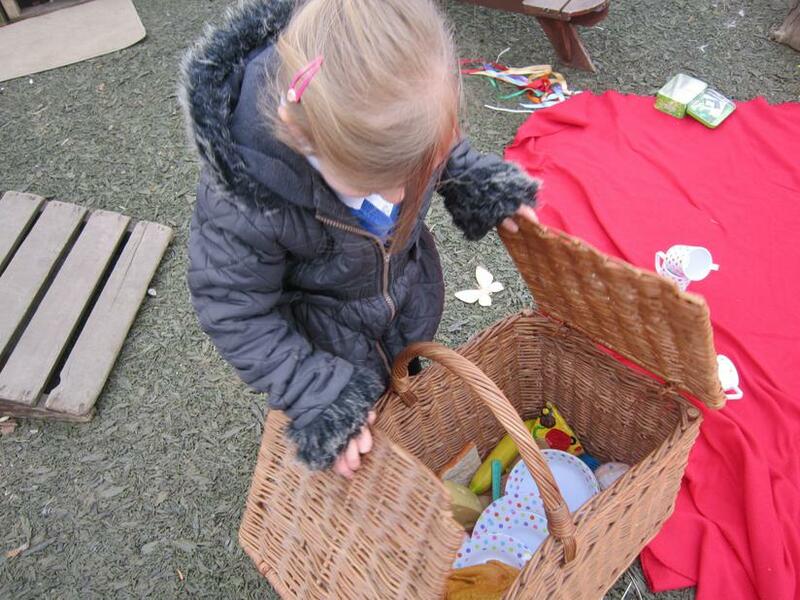 Our children have been exploring, talking about where they would like to go on an adventure and saying how they might get there. 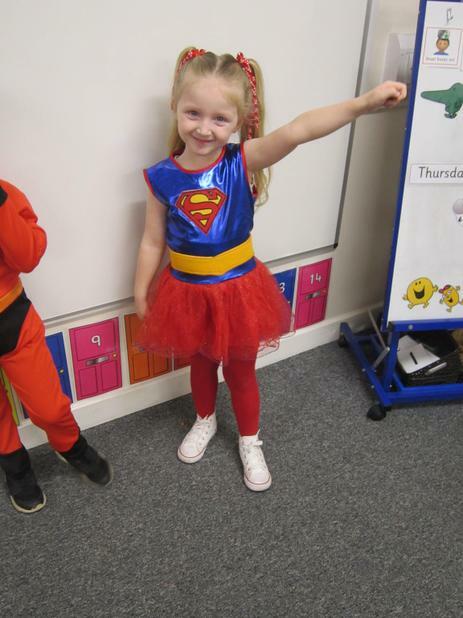 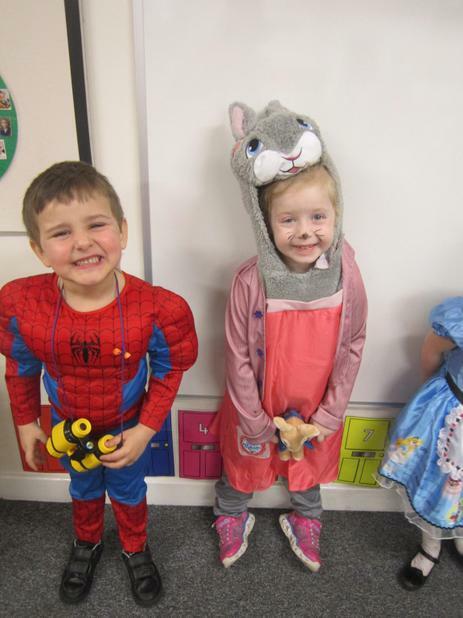 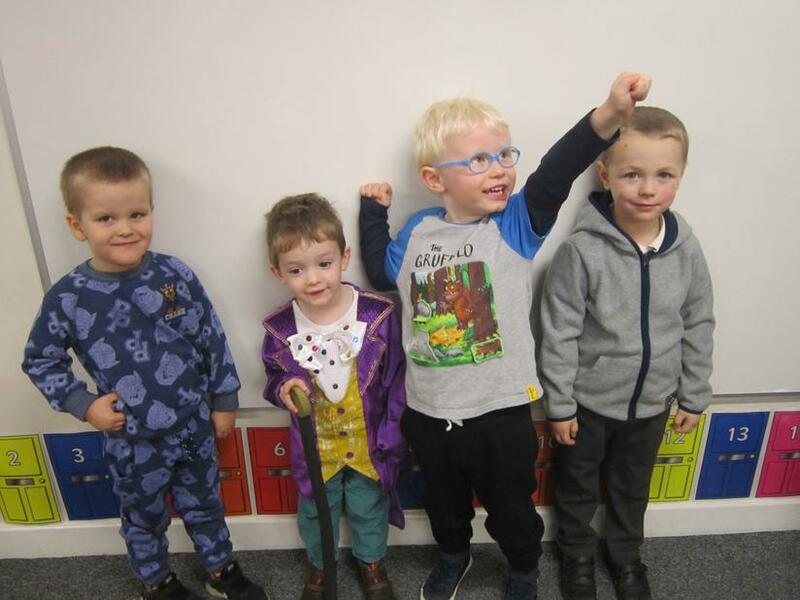 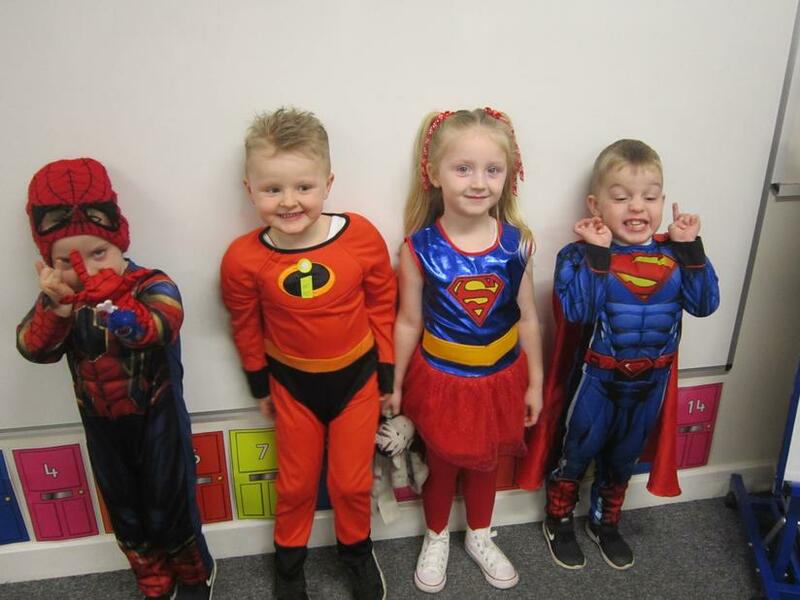 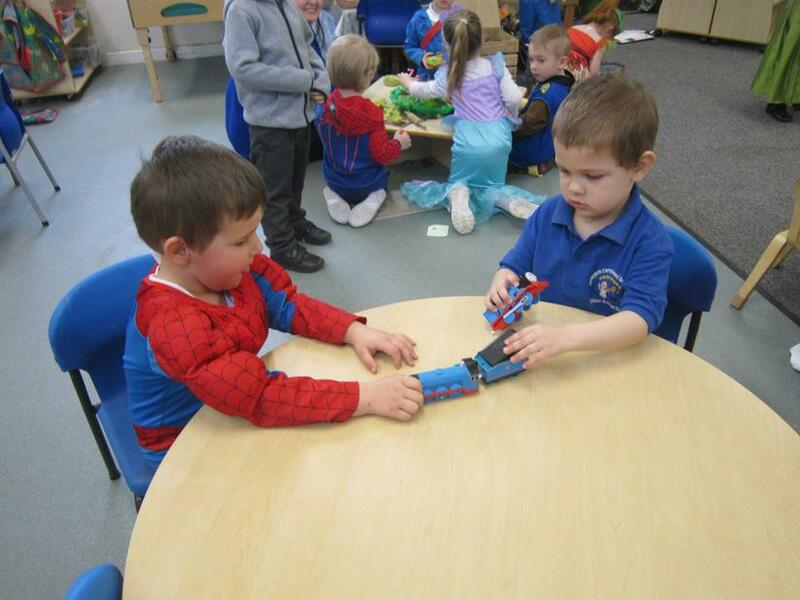 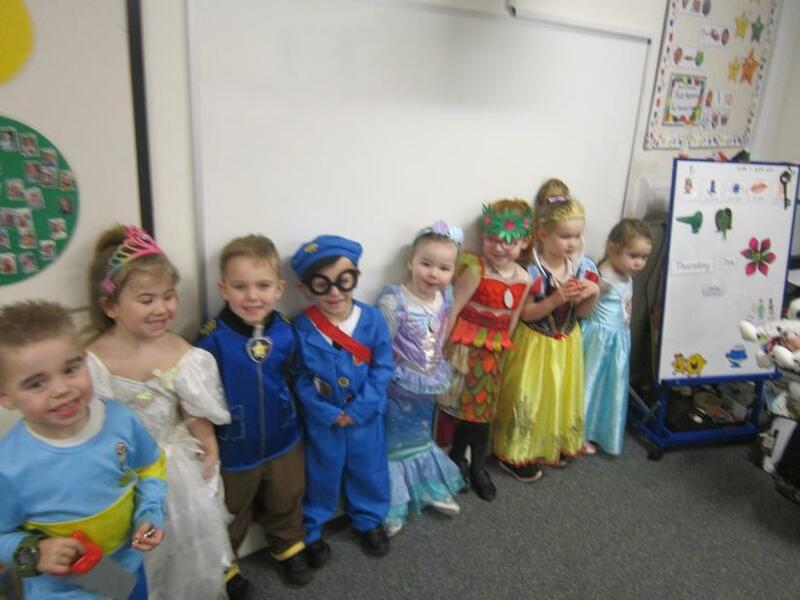 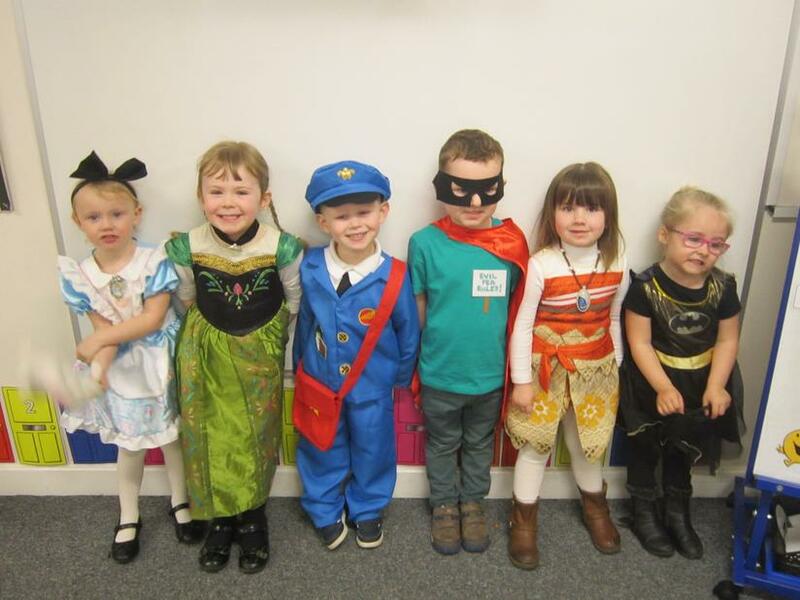 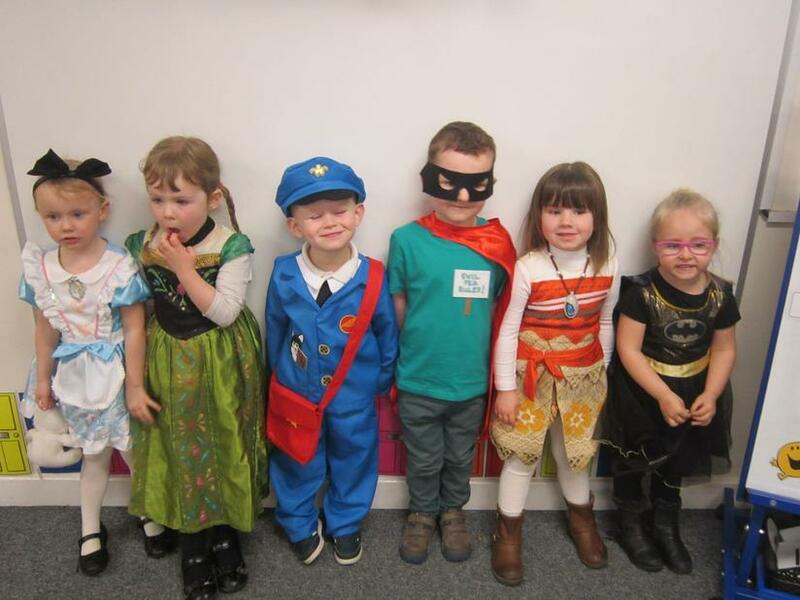 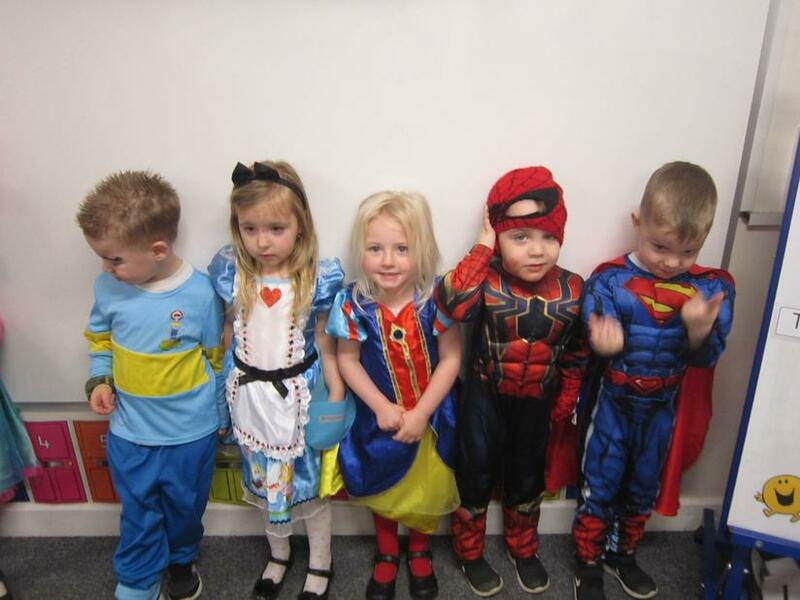 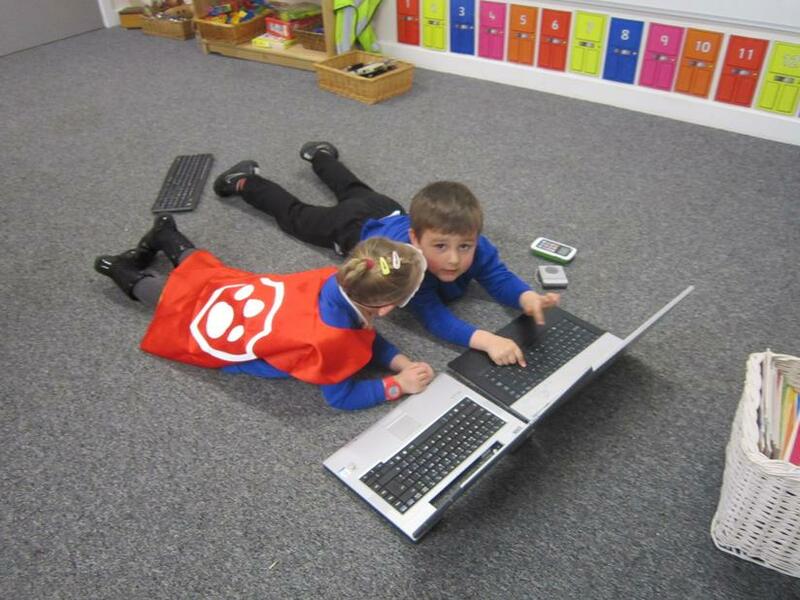 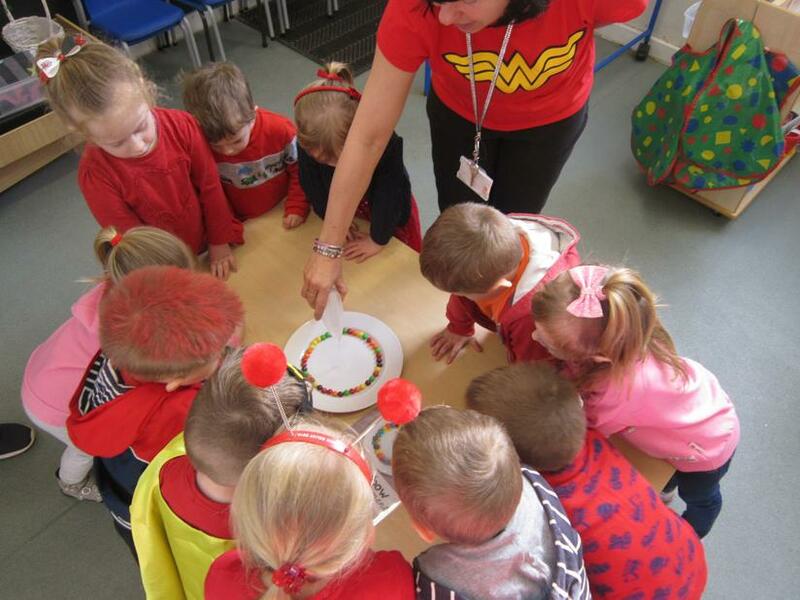 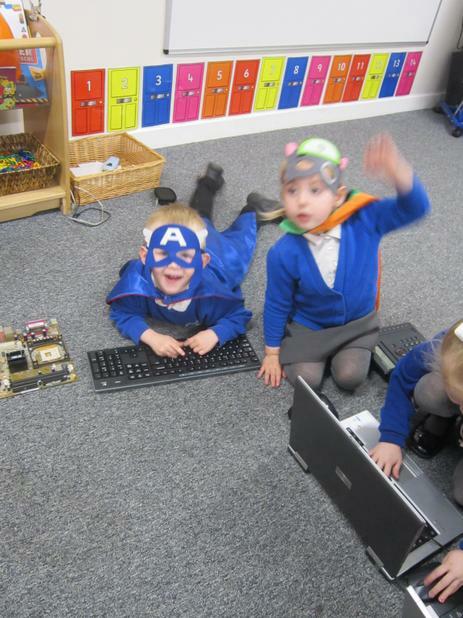 Our super heroes of the week. 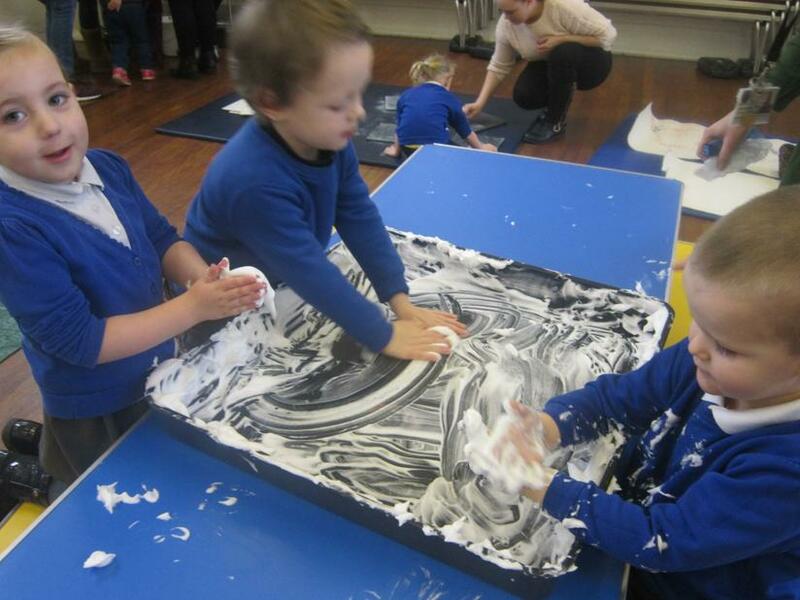 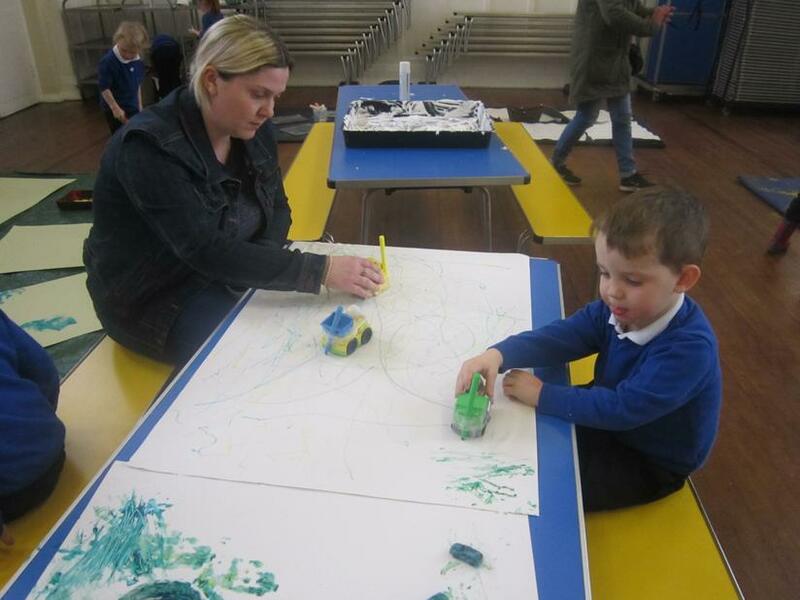 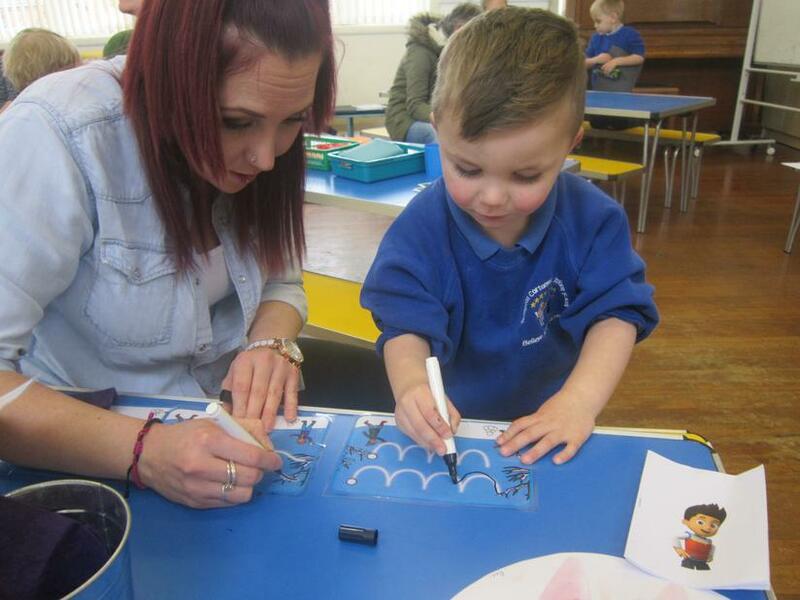 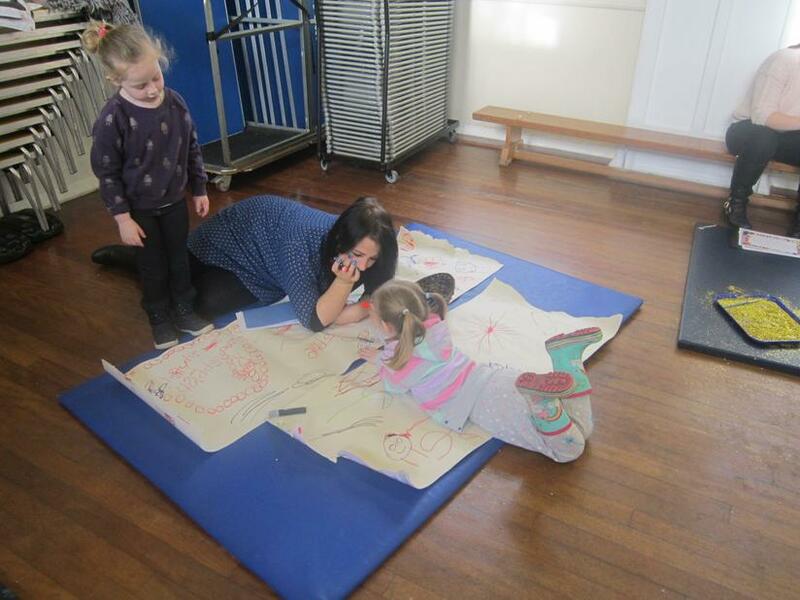 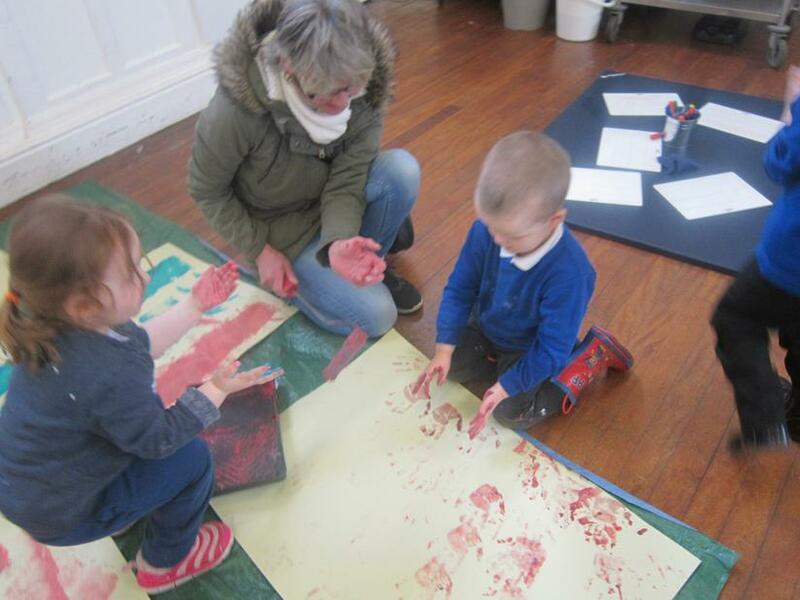 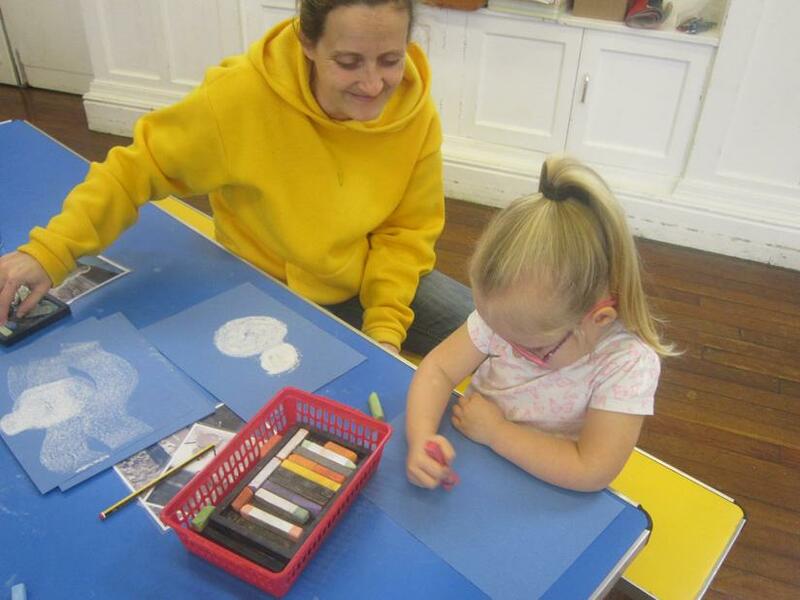 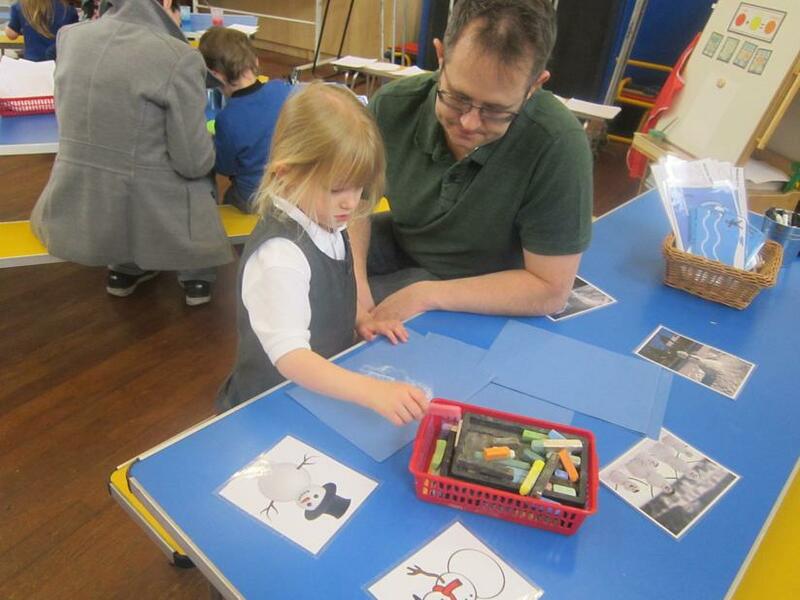 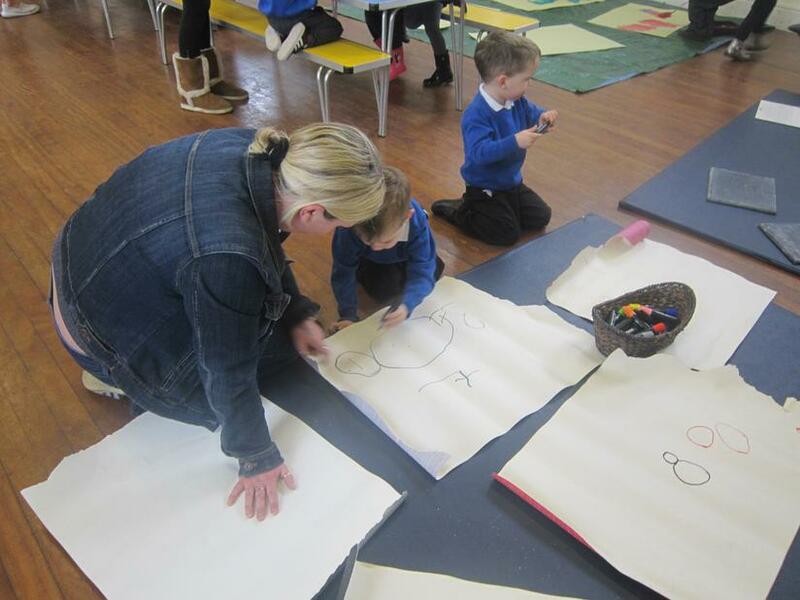 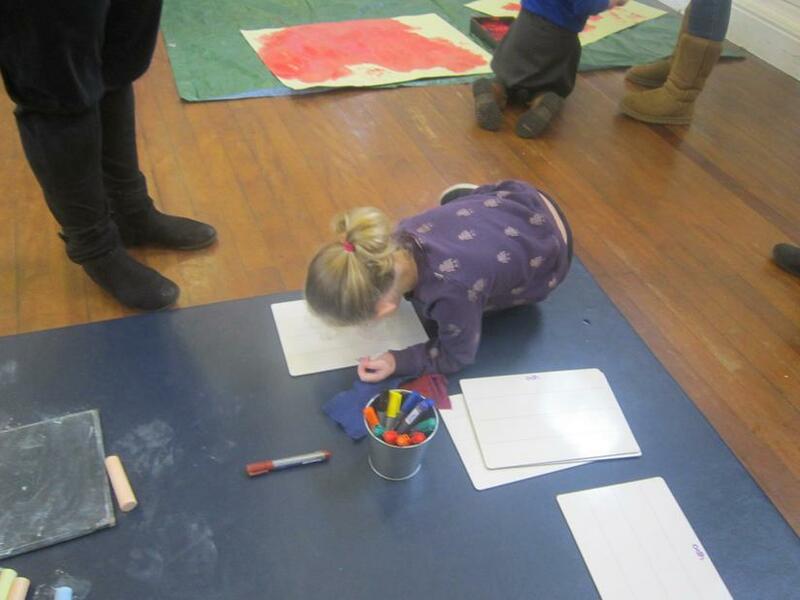 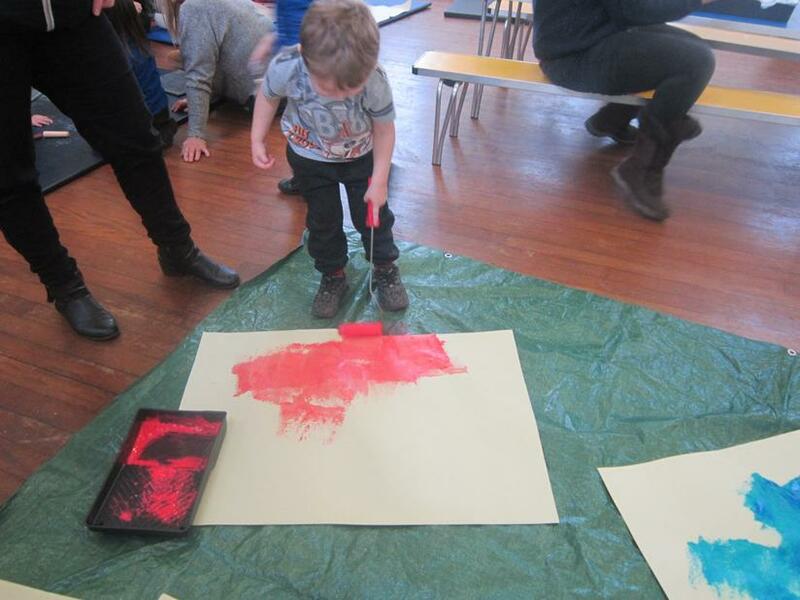 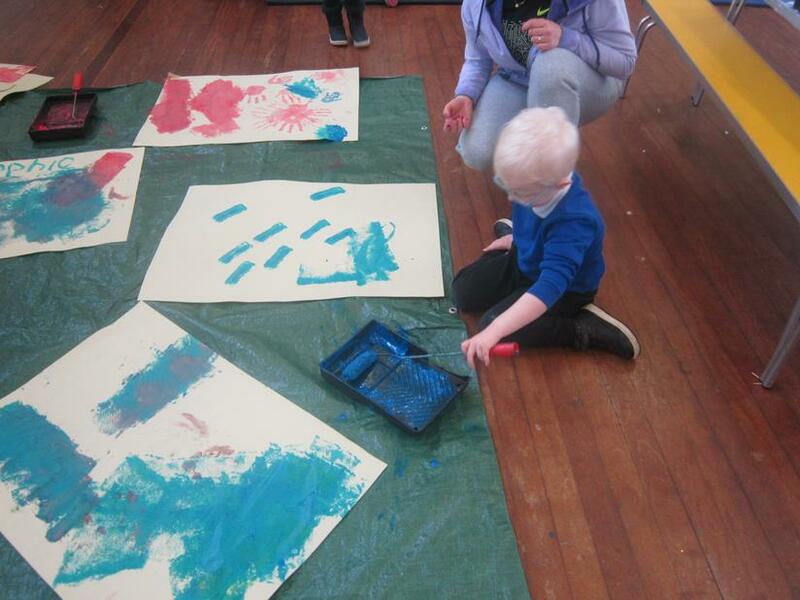 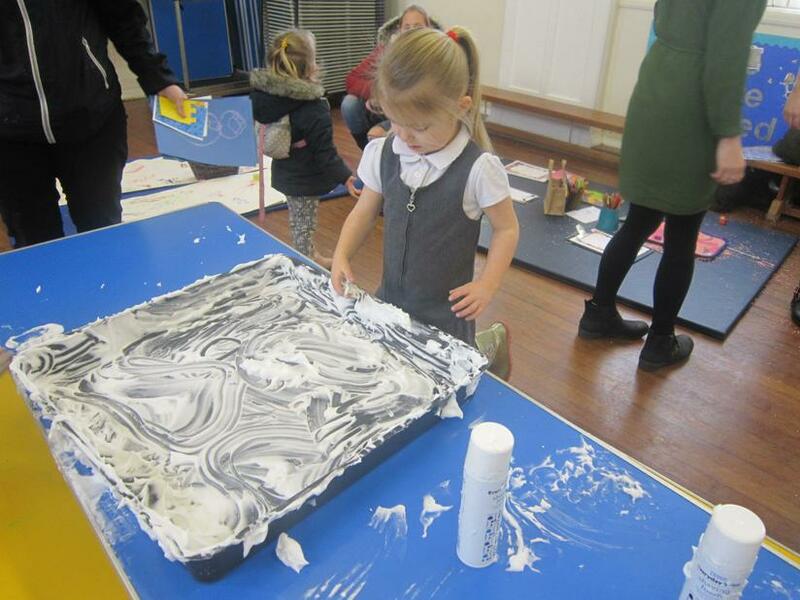 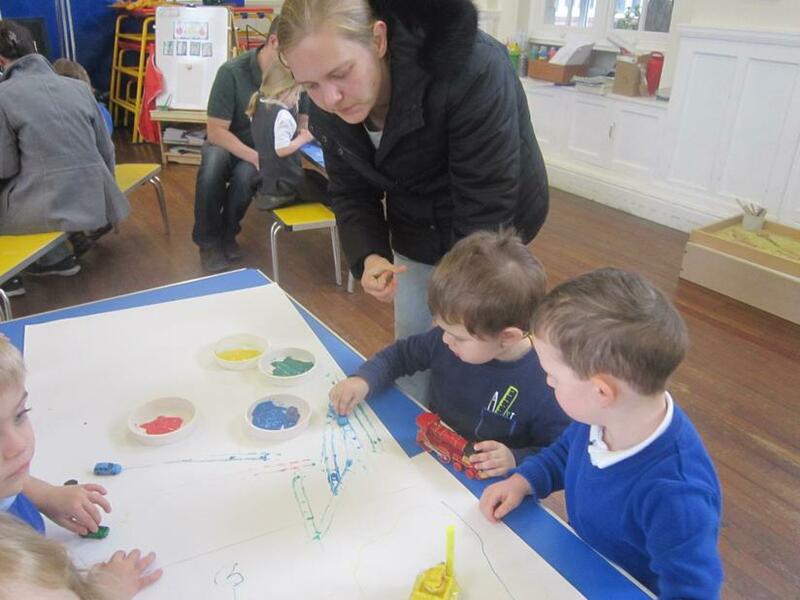 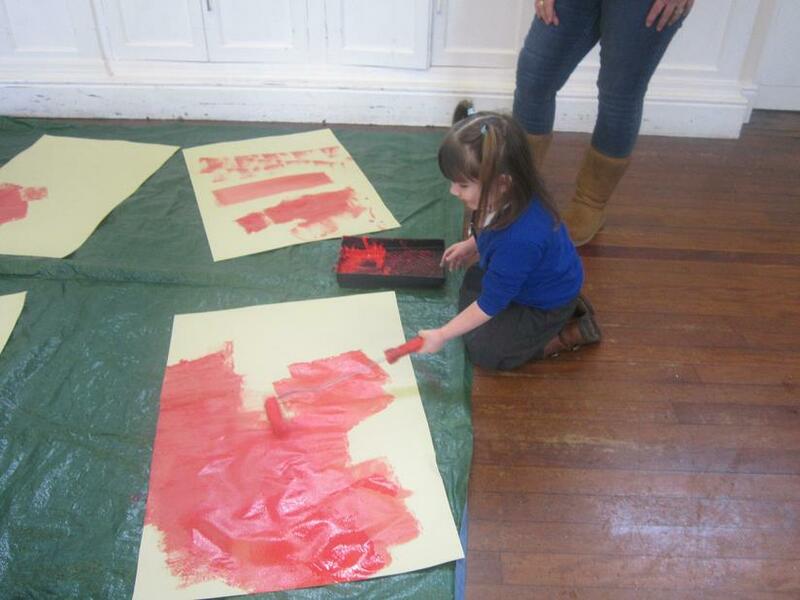 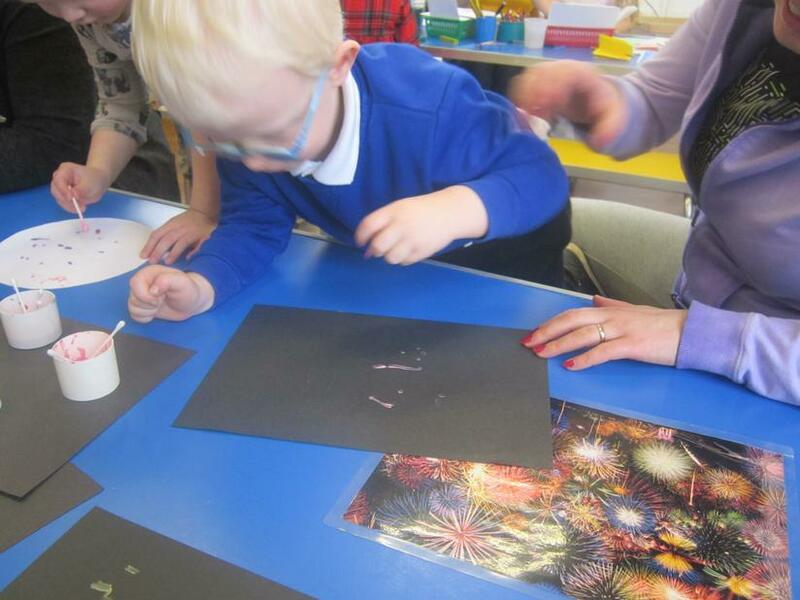 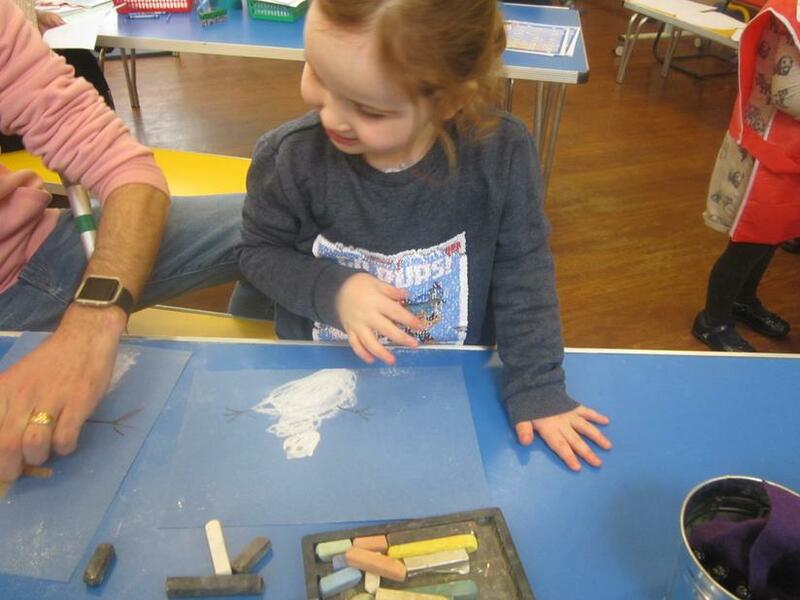 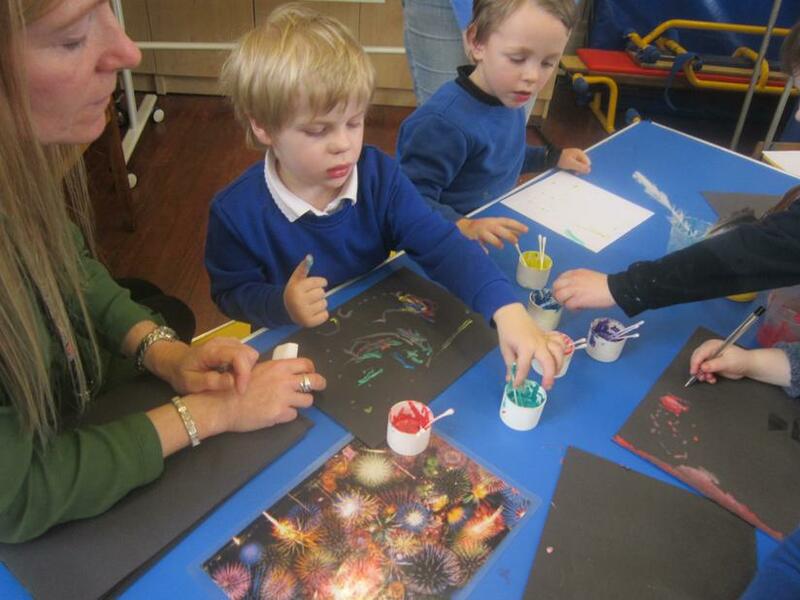 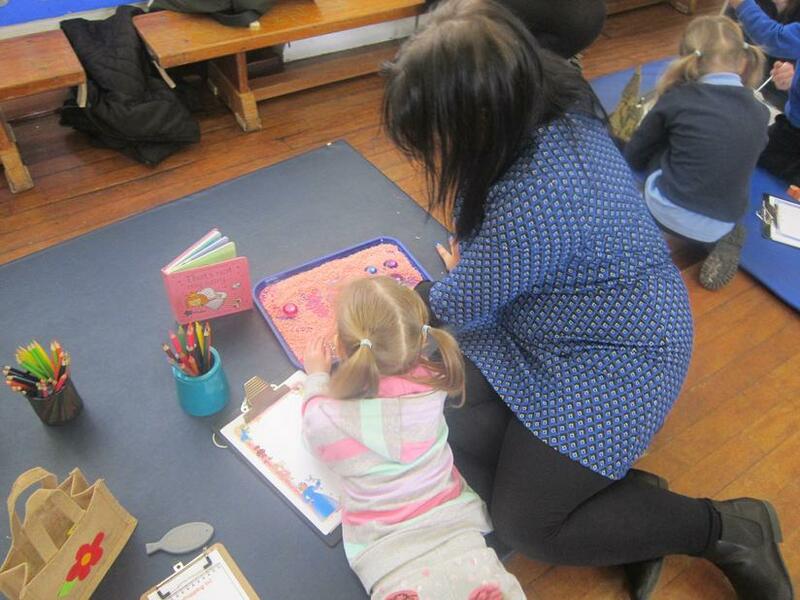 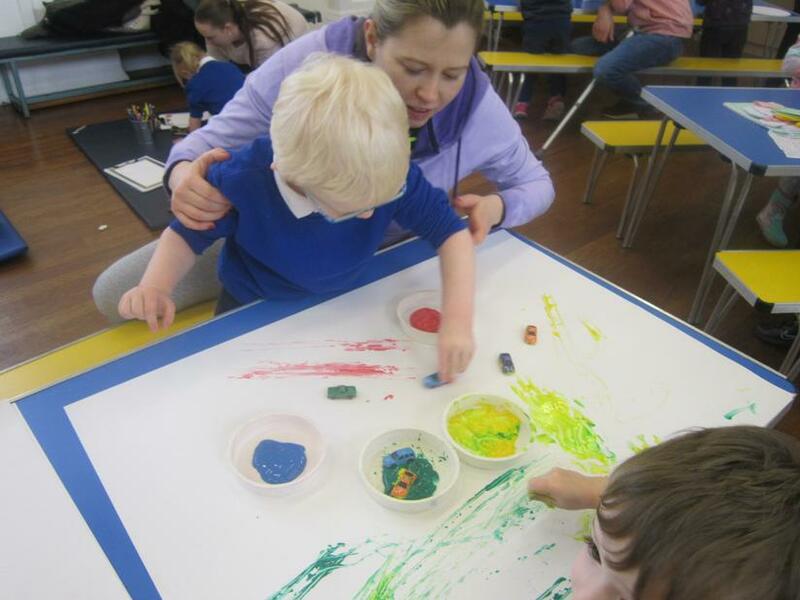 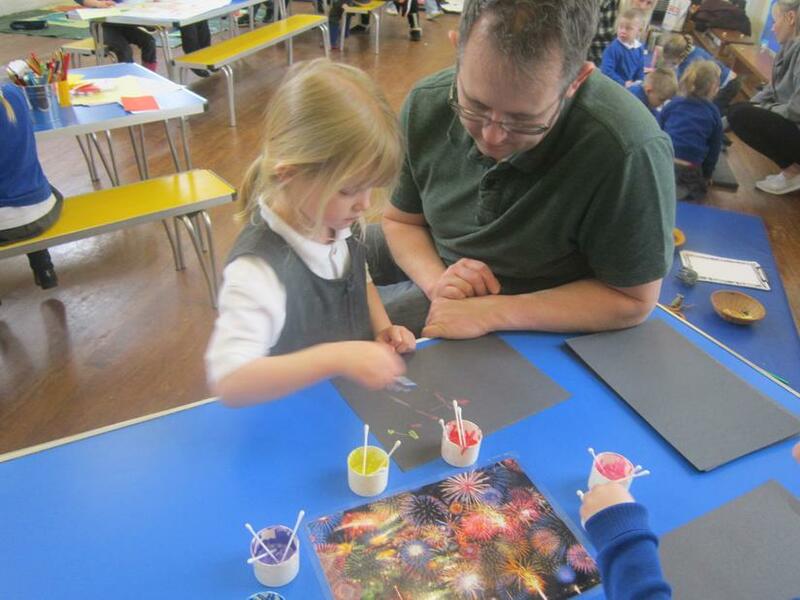 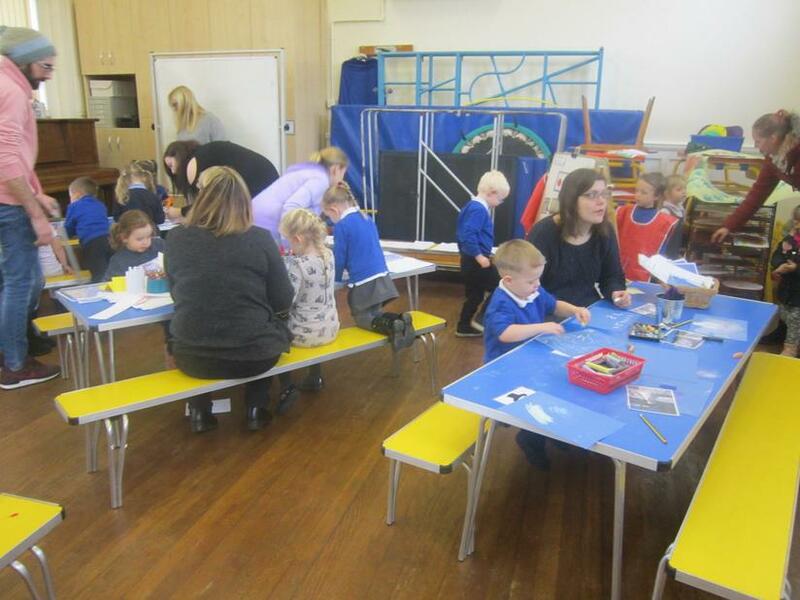 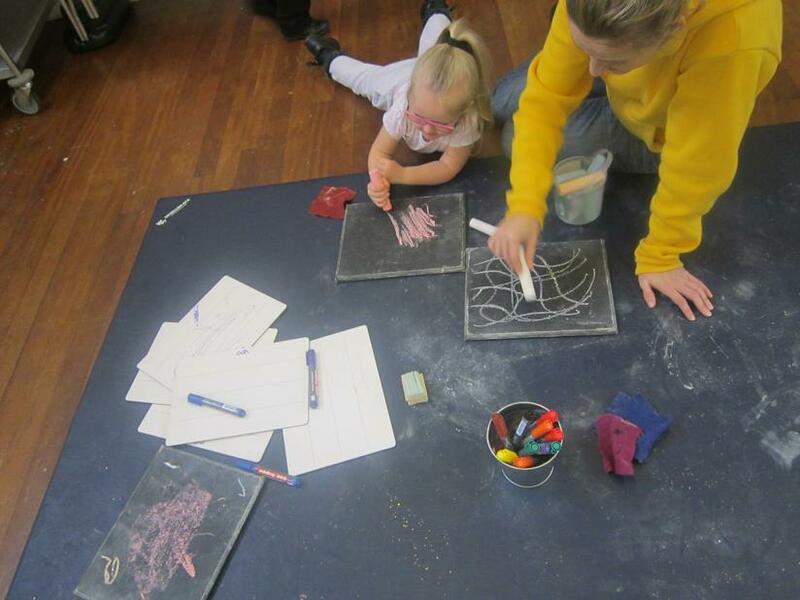 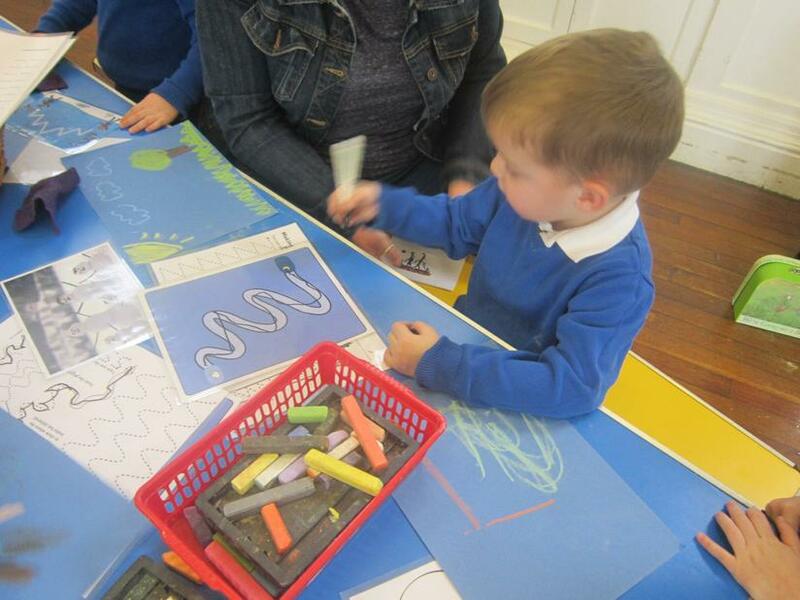 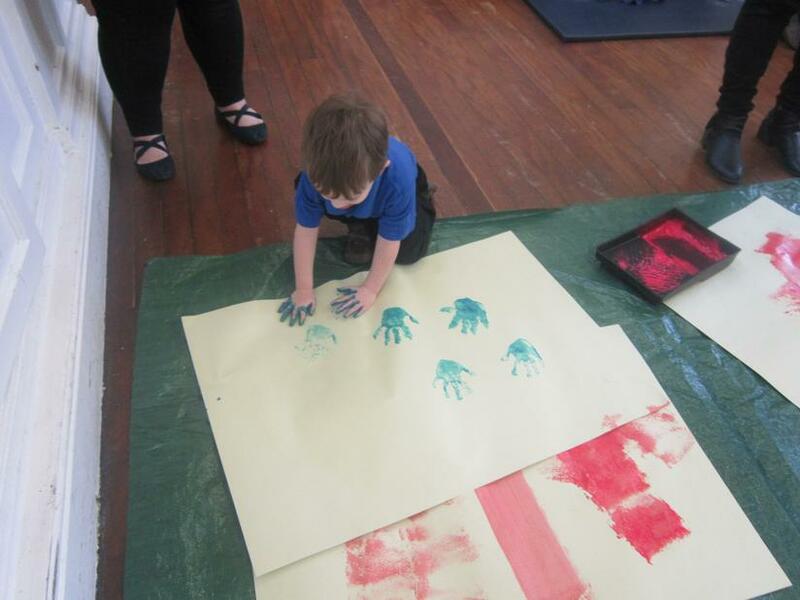 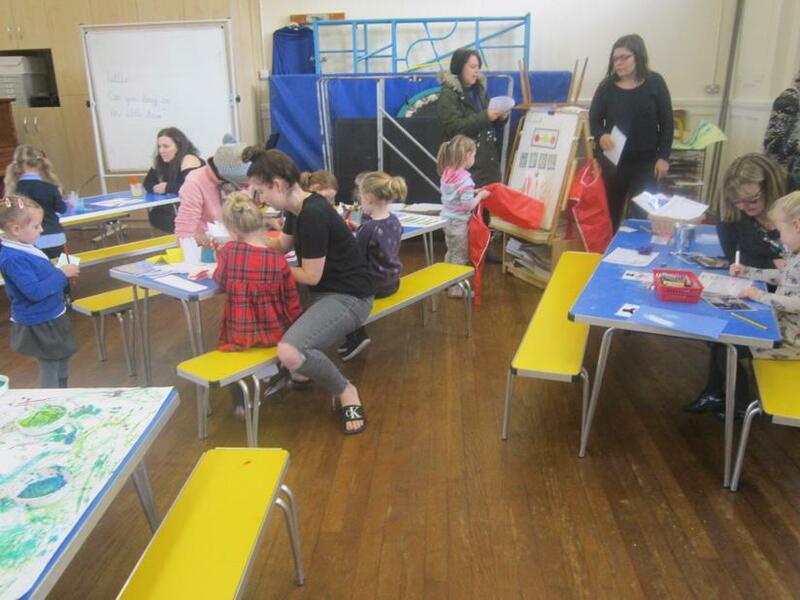 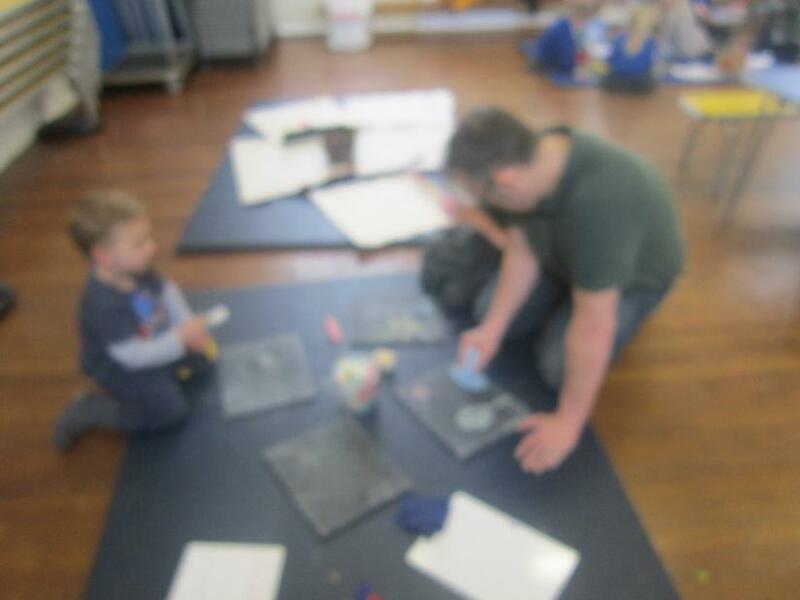 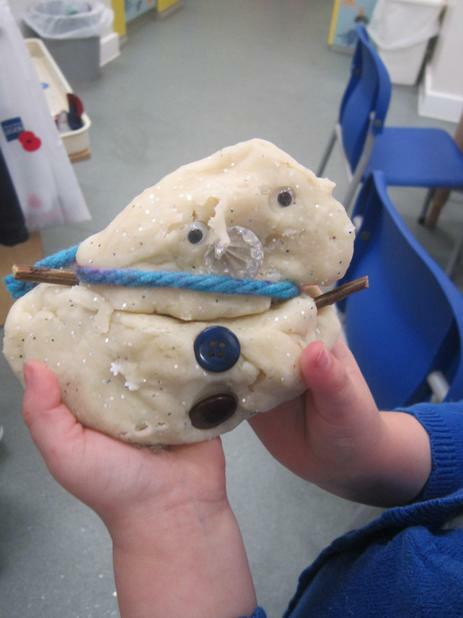 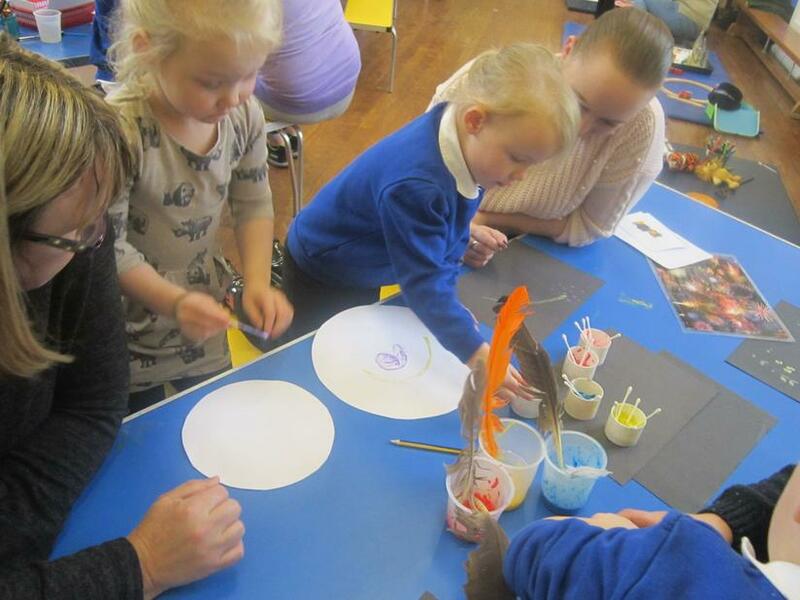 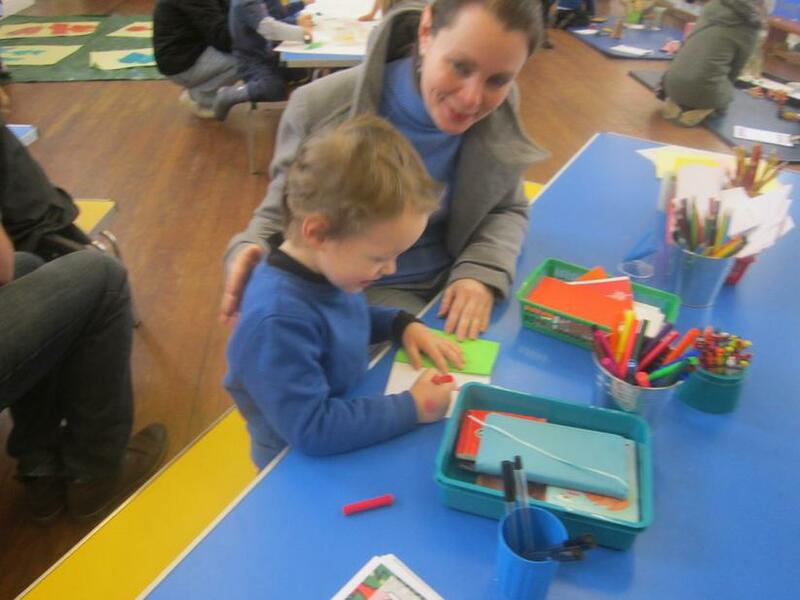 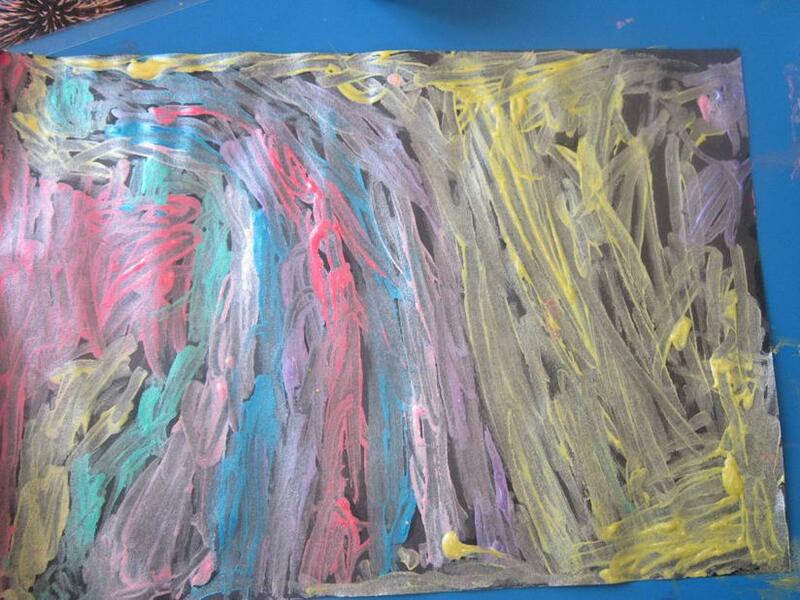 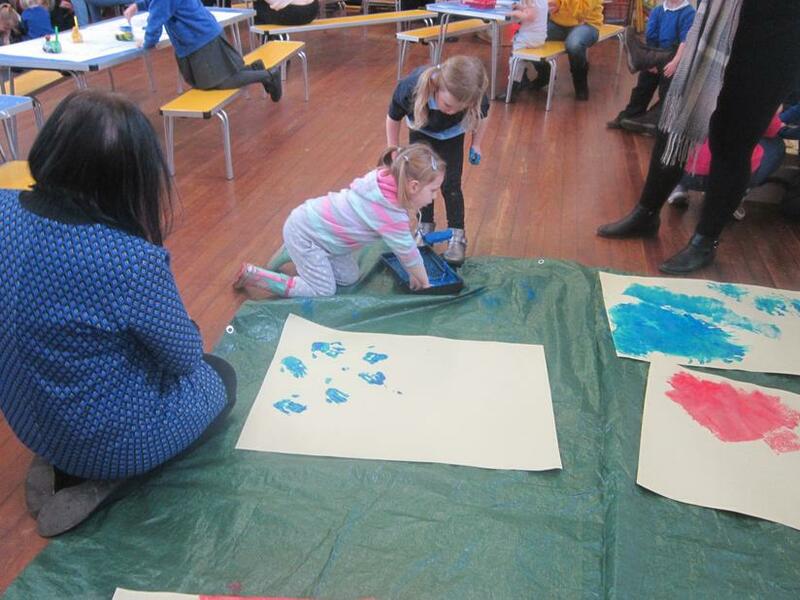 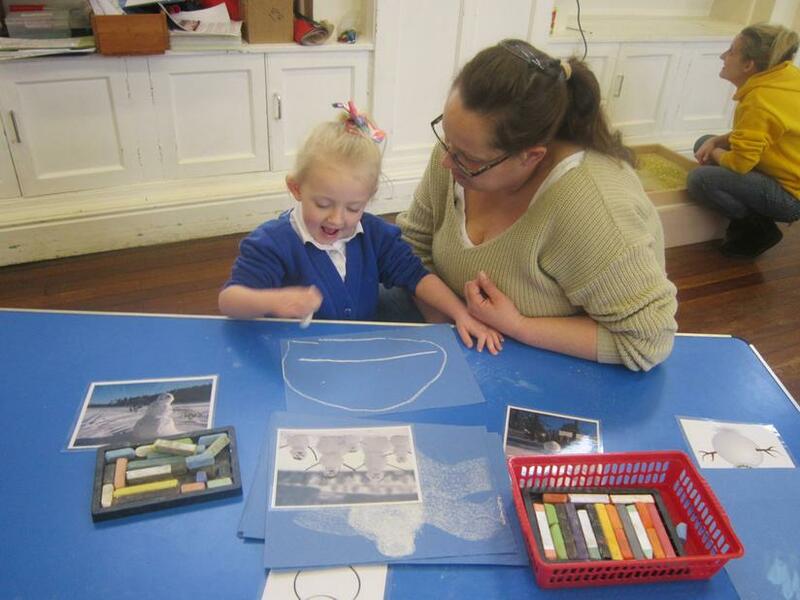 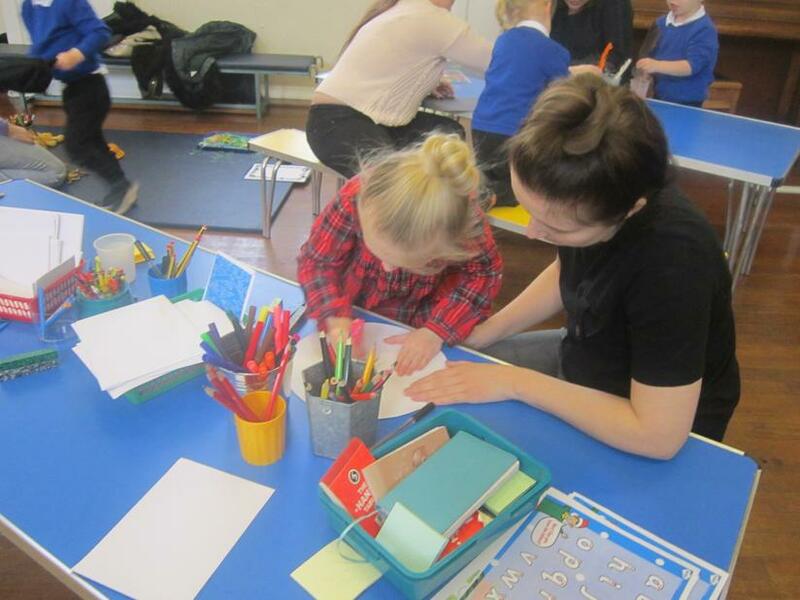 Our fantastic parent workshop on Mark Making. 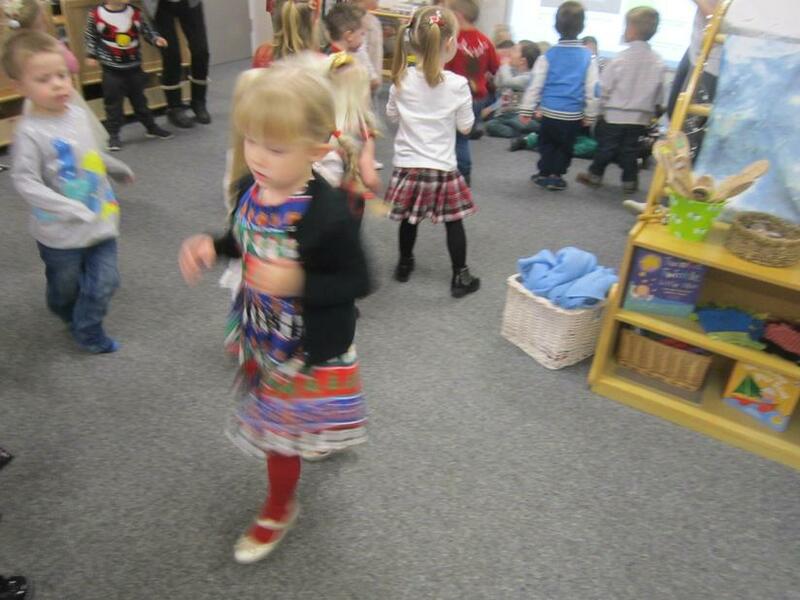 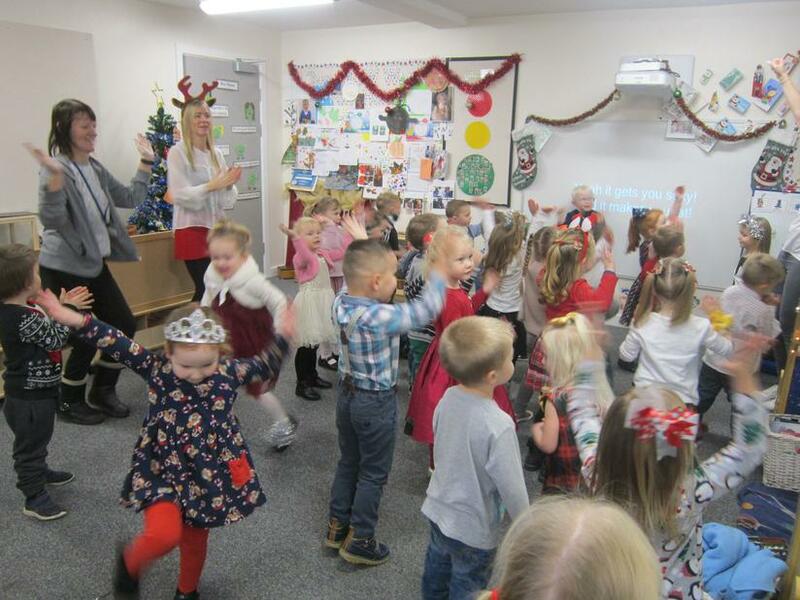 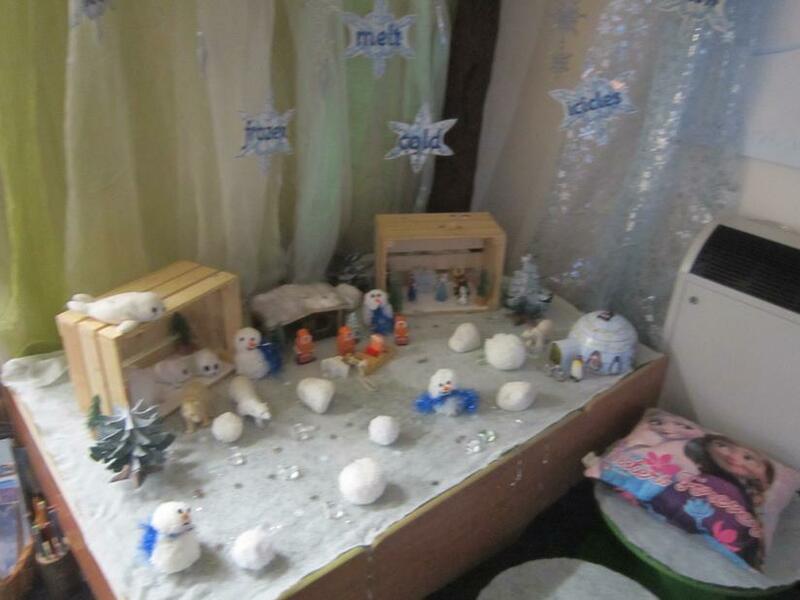 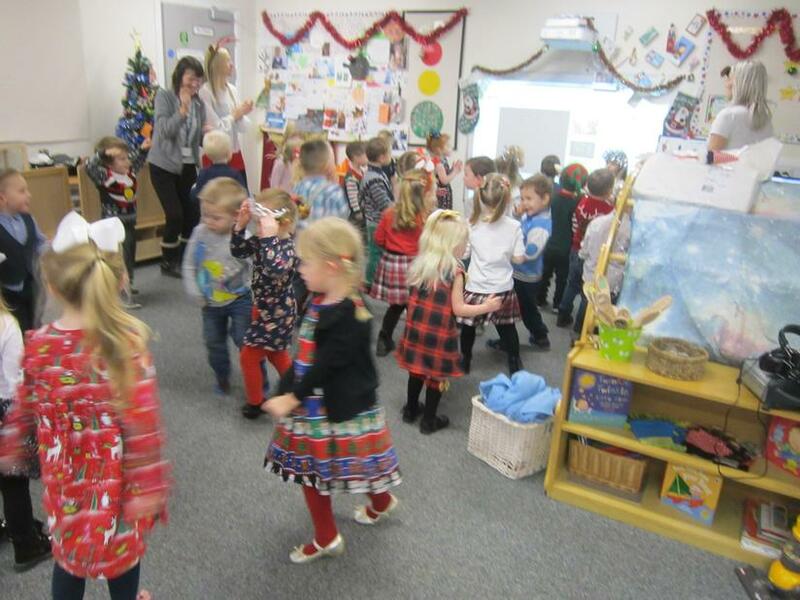 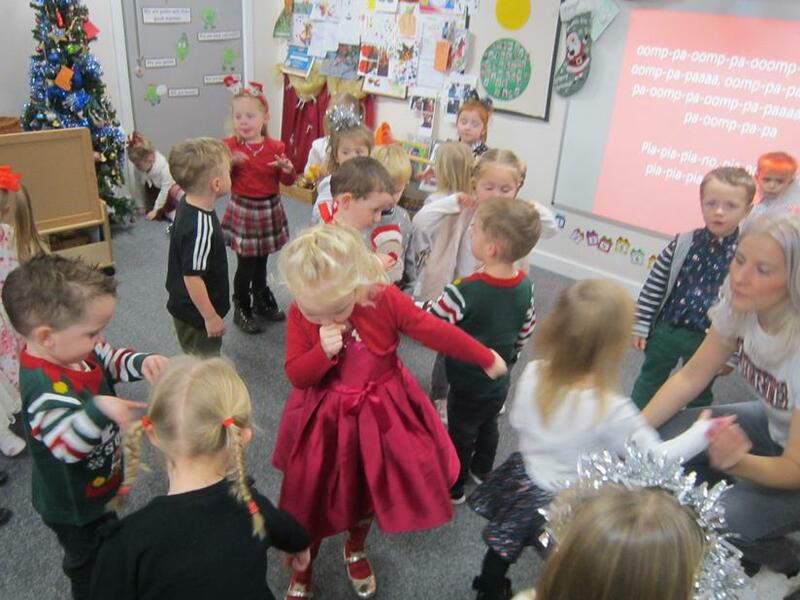 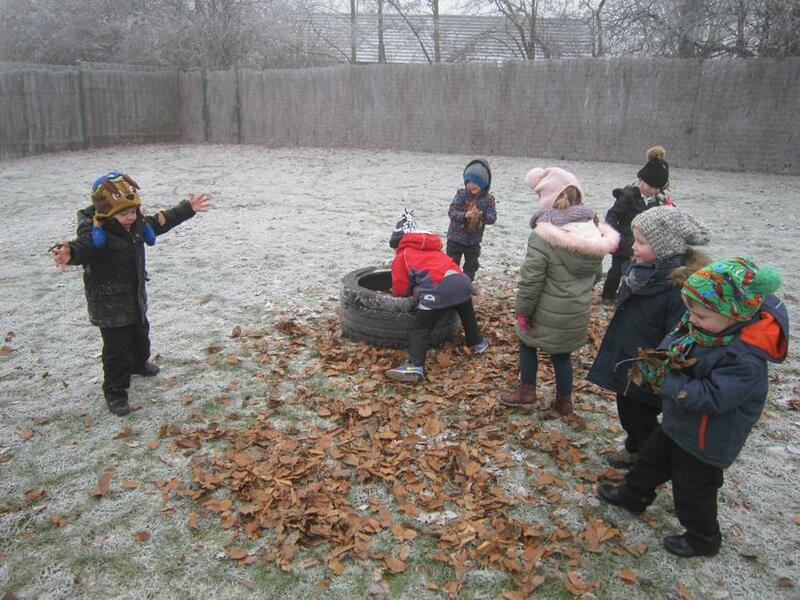 Our exit point and celebration of What happens in winter? 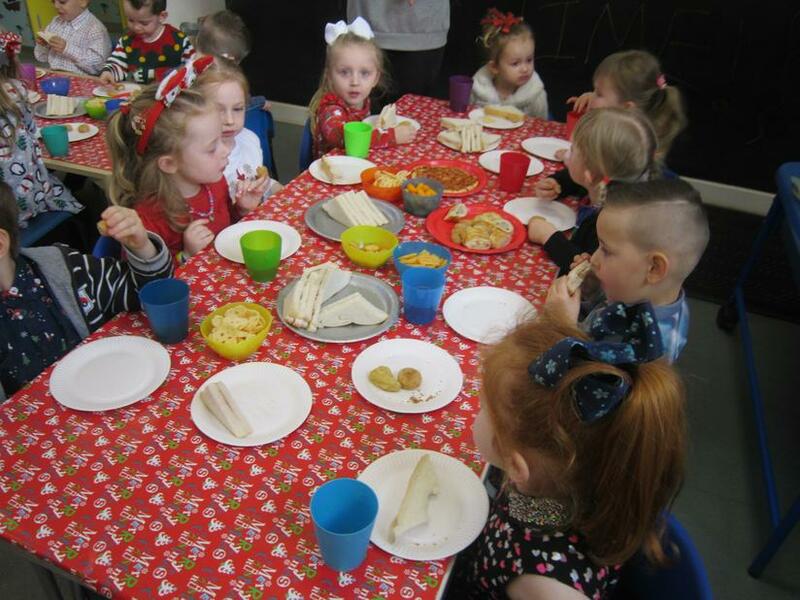 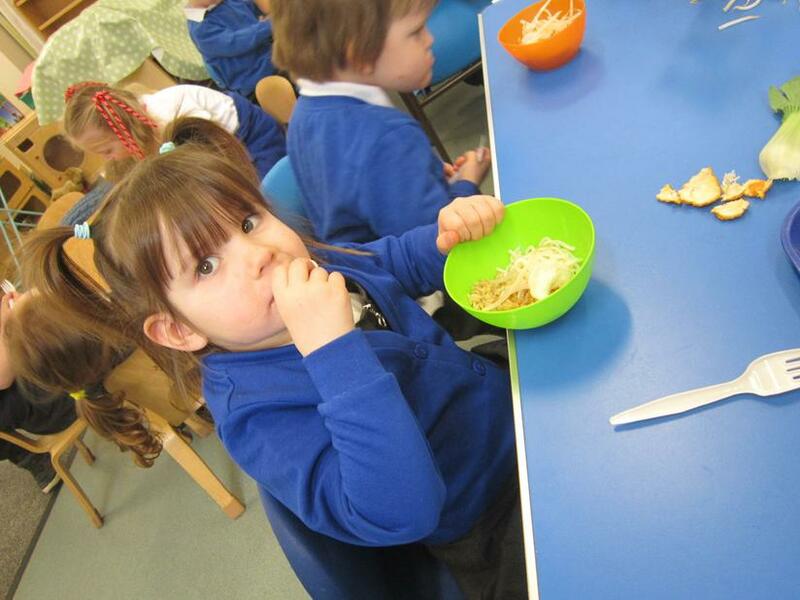 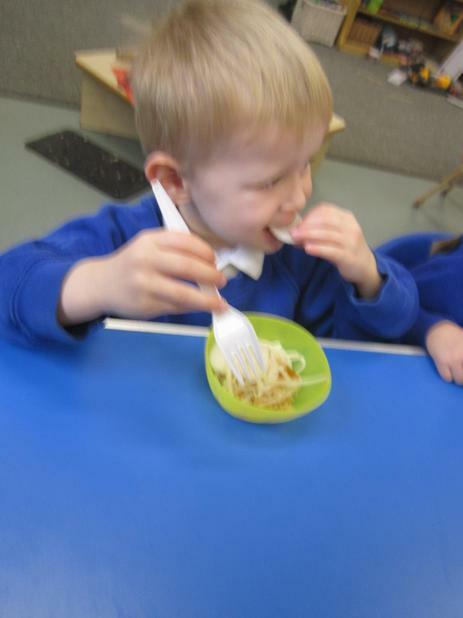 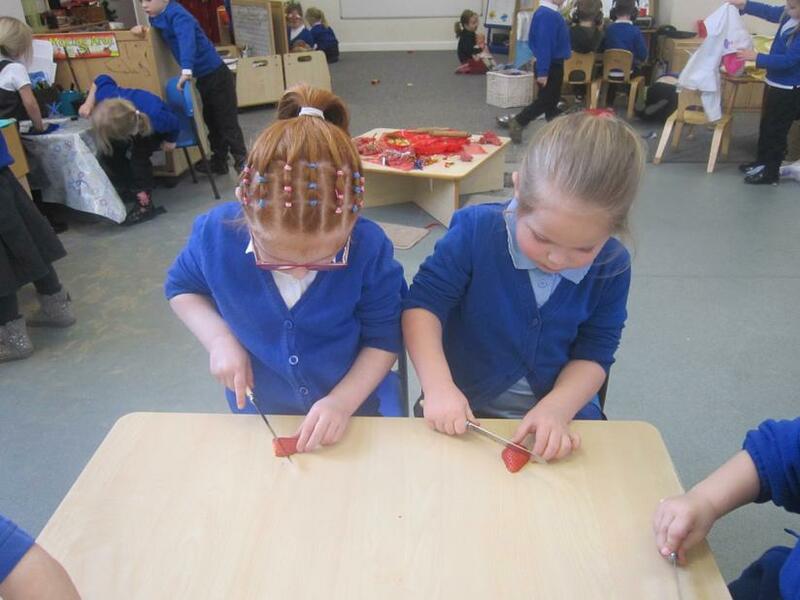 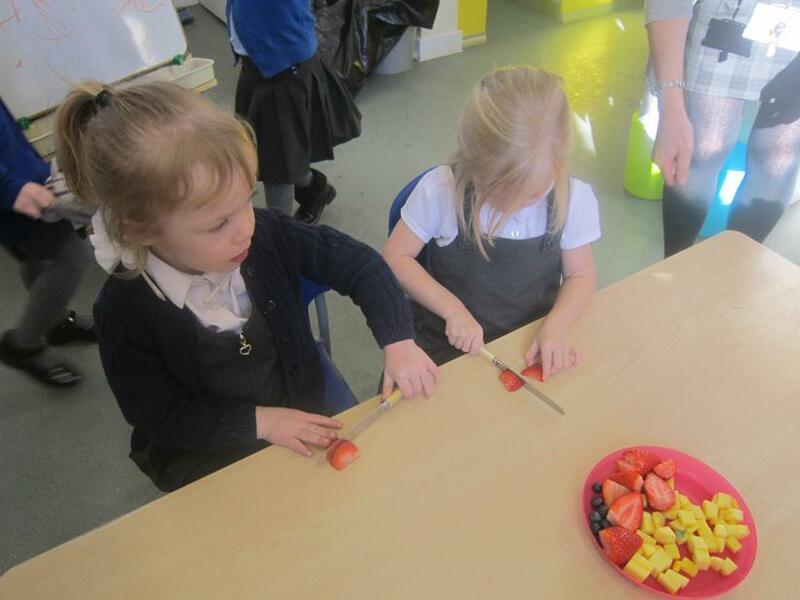 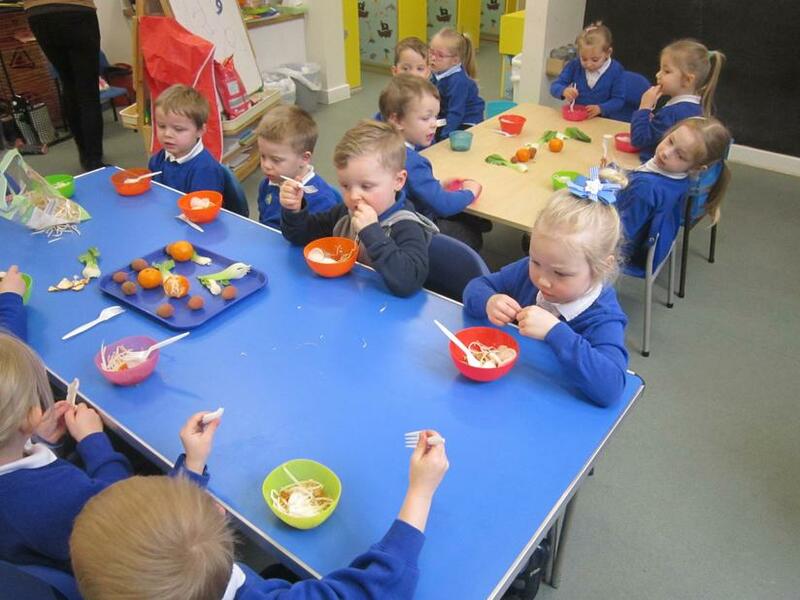 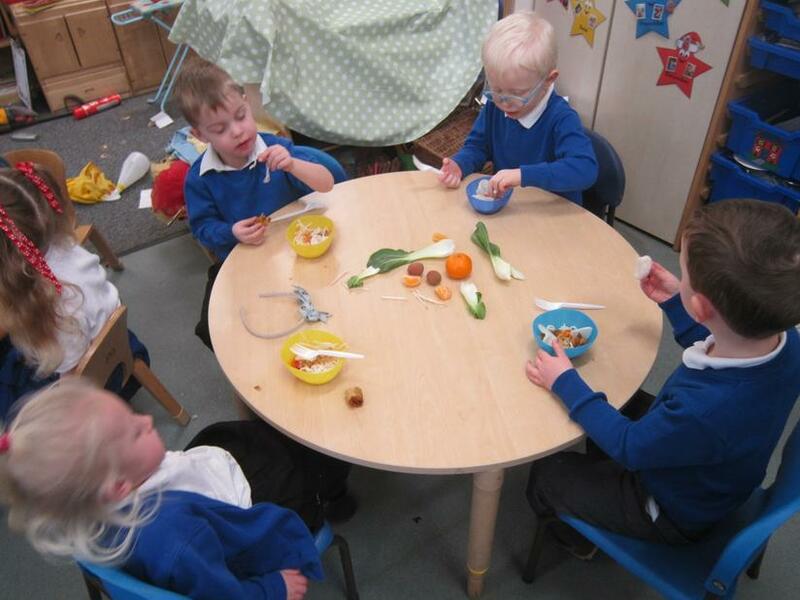 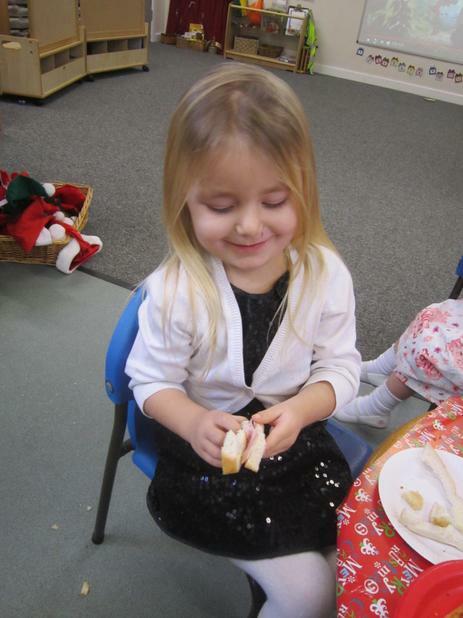 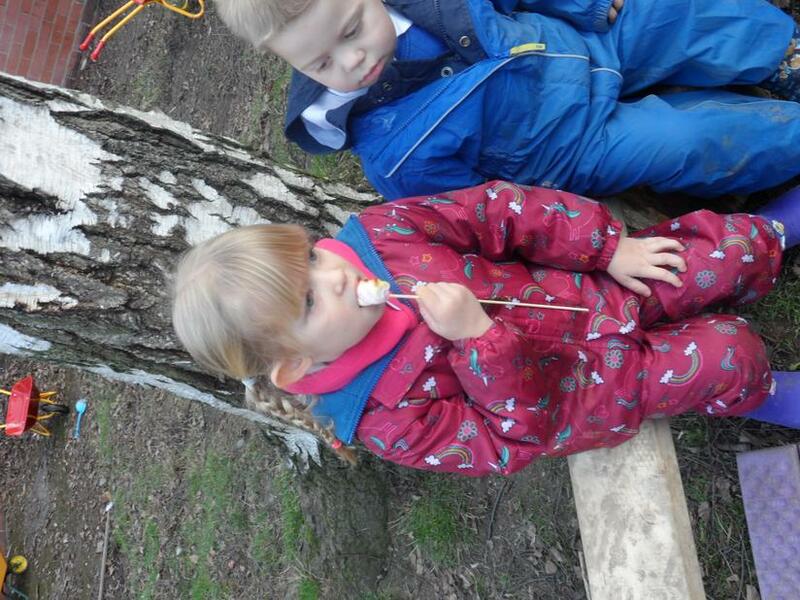 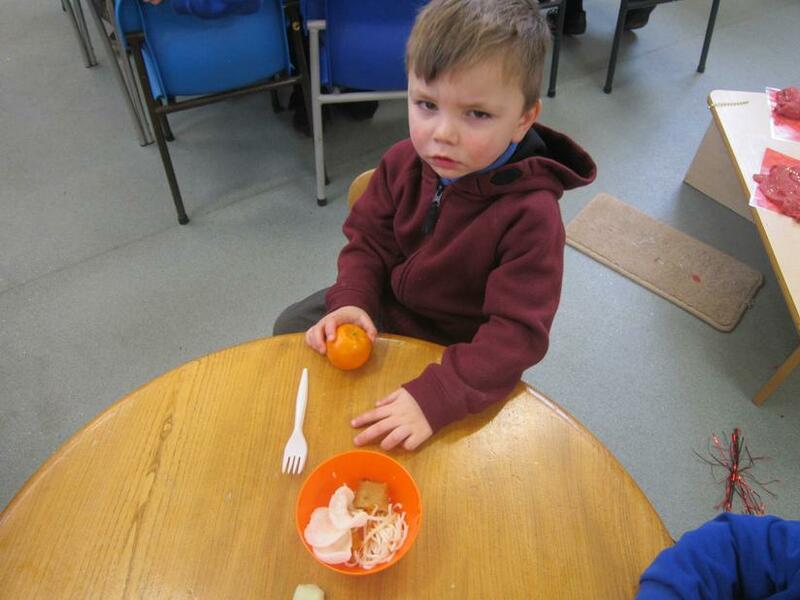 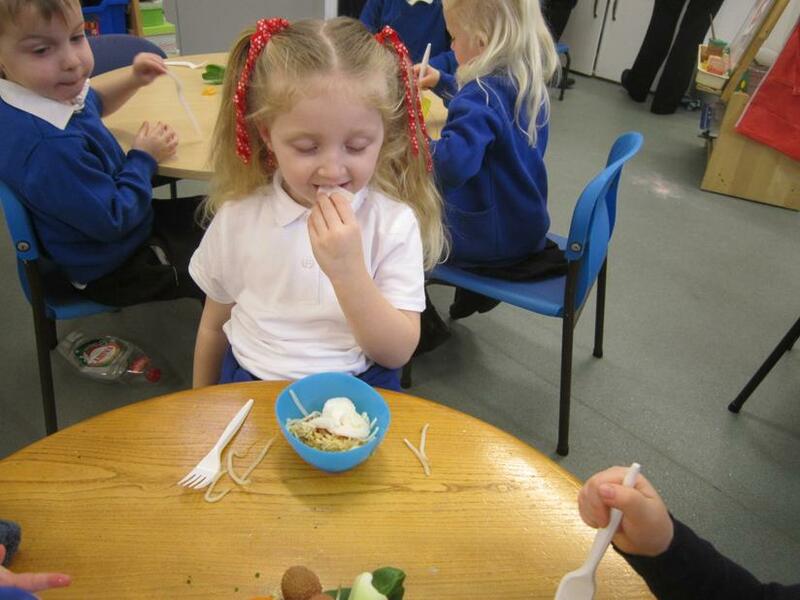 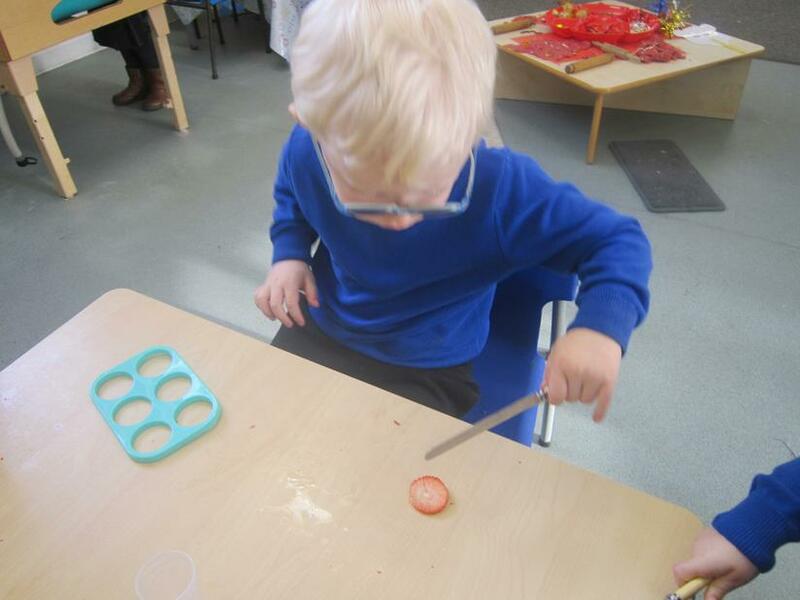 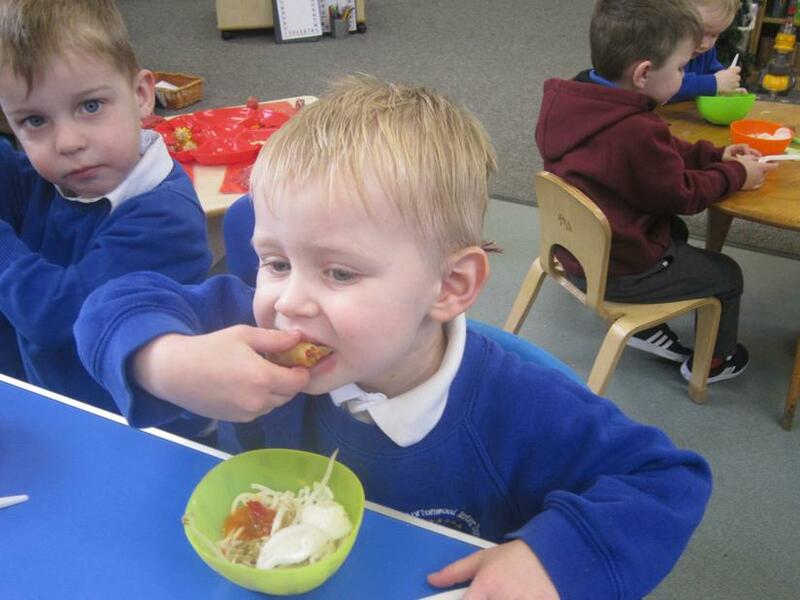 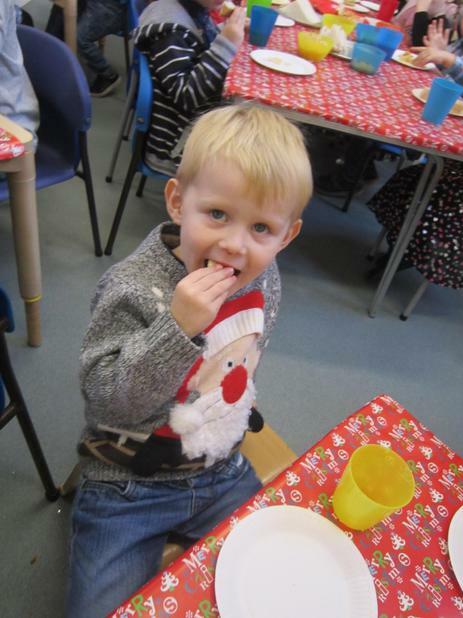 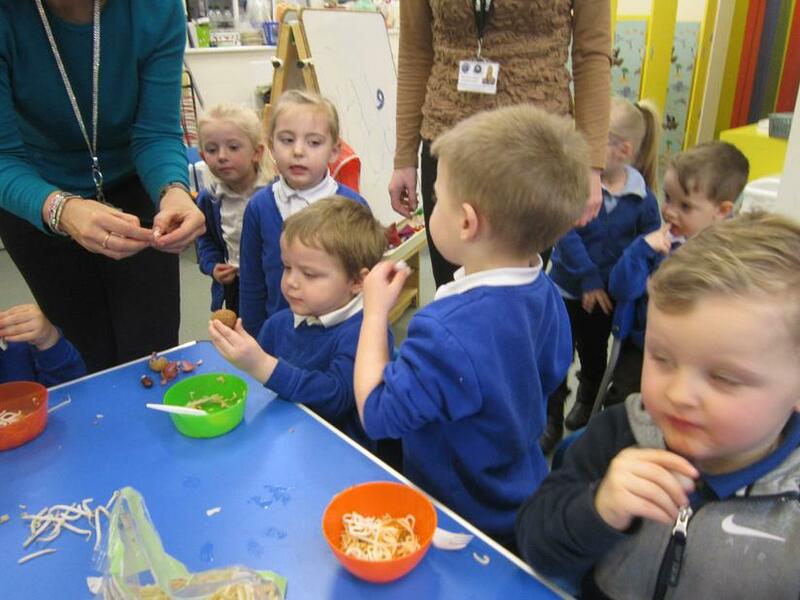 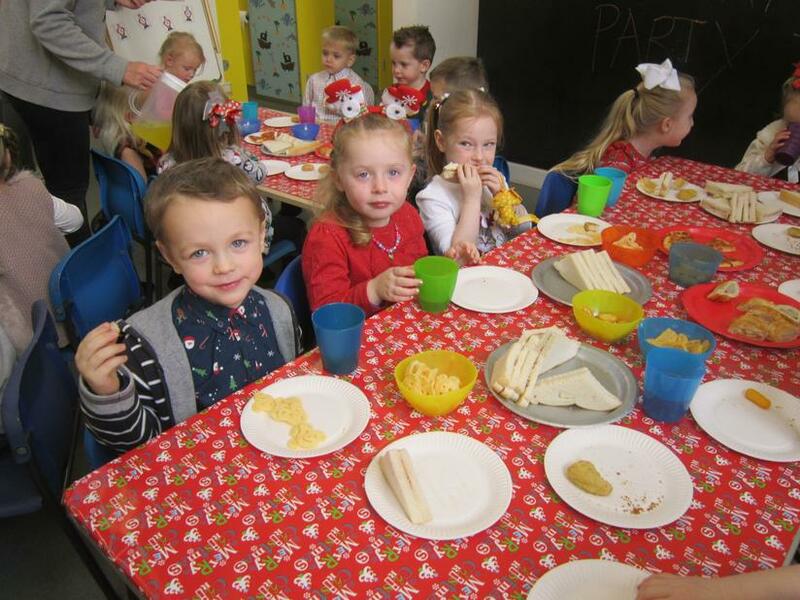 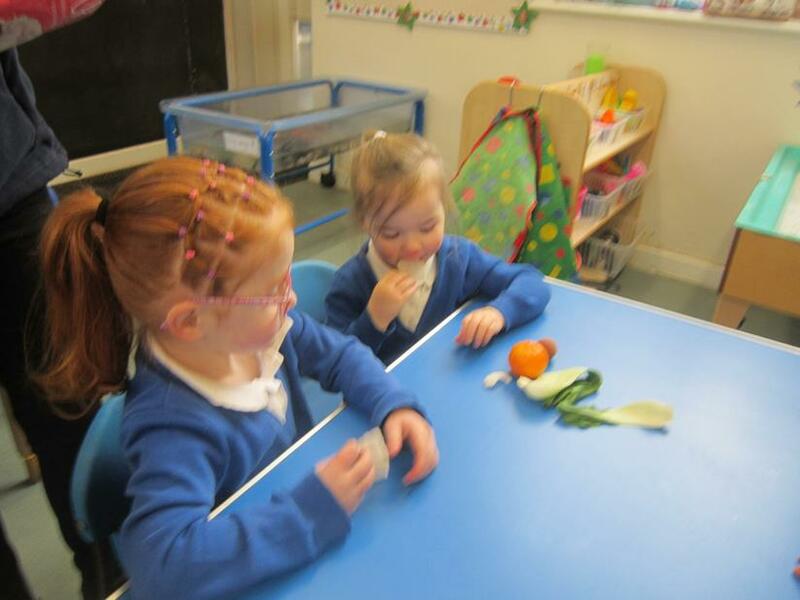 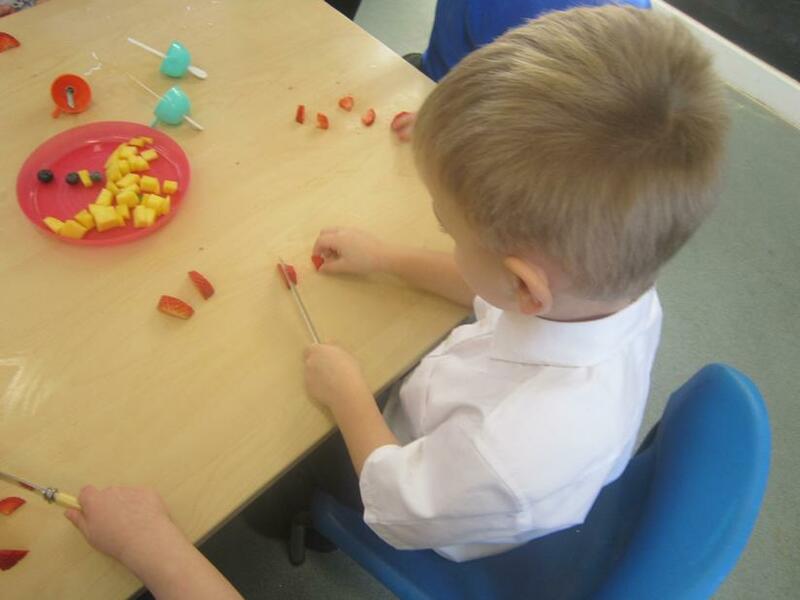 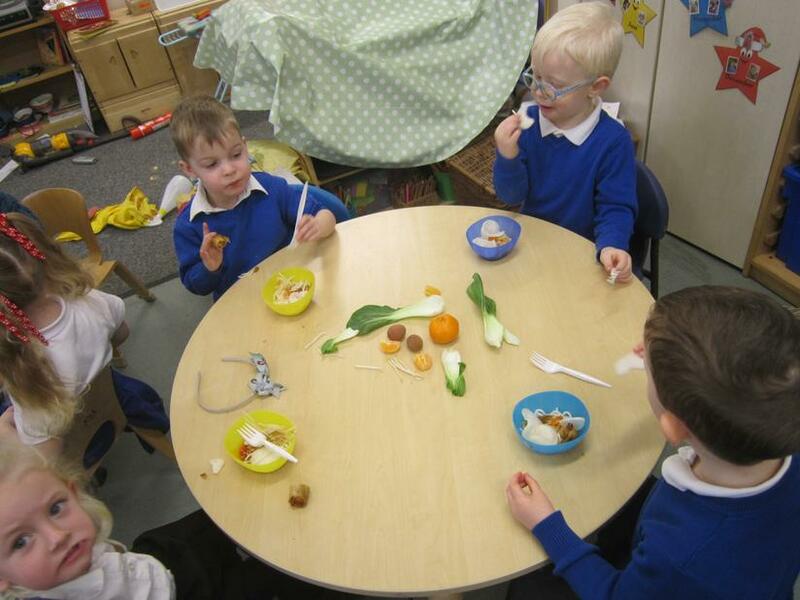 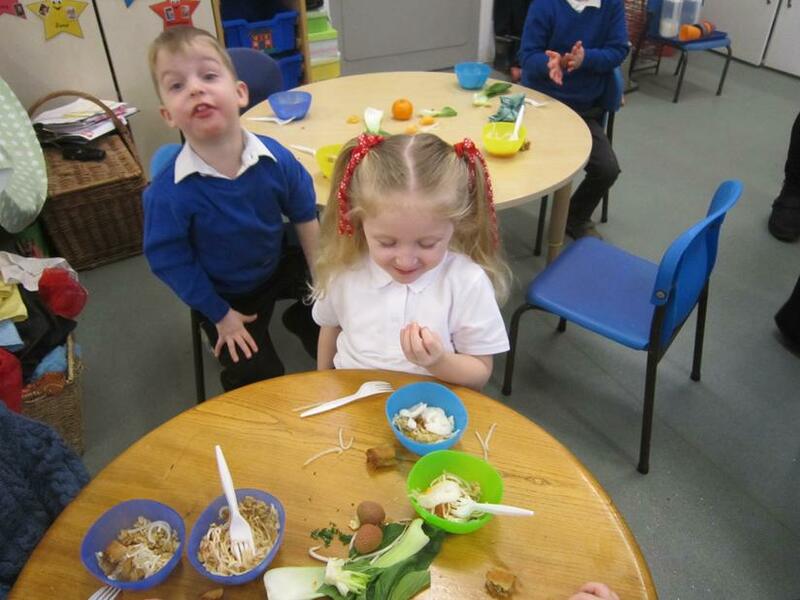 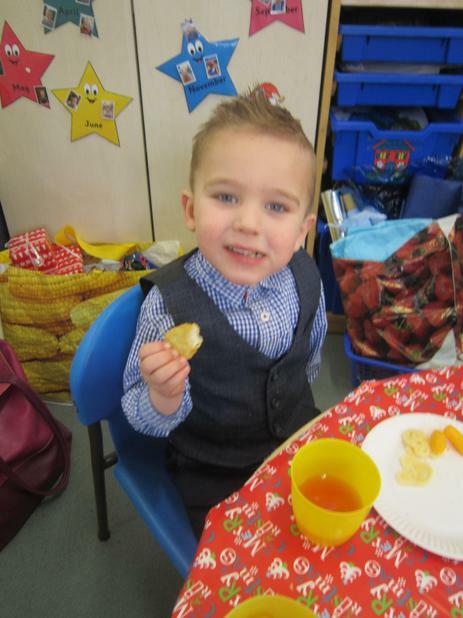 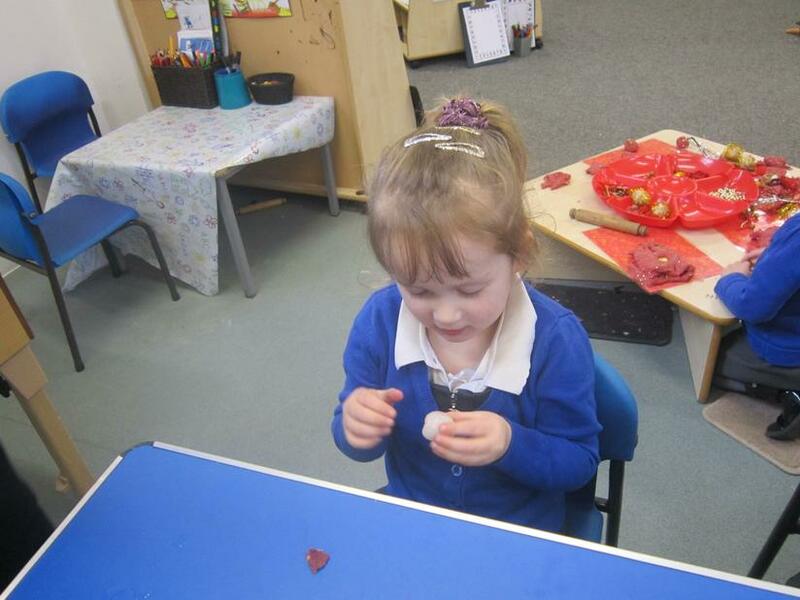 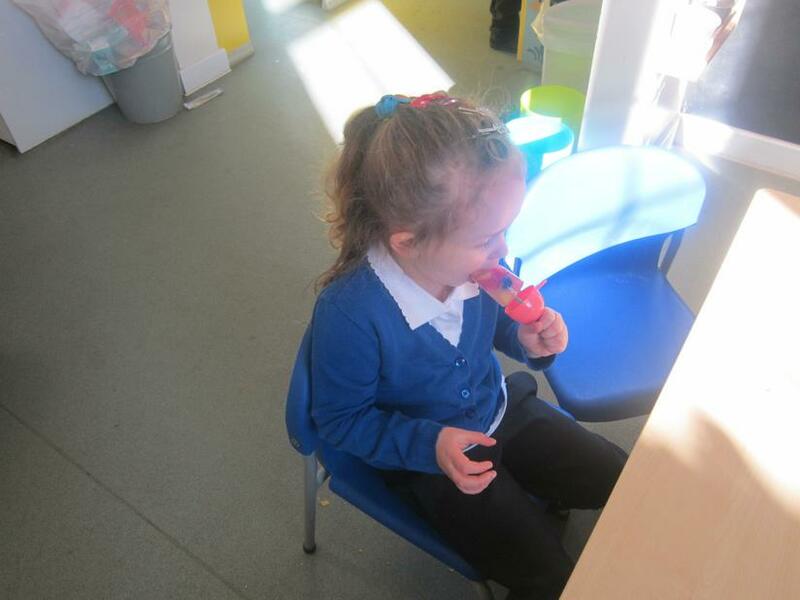 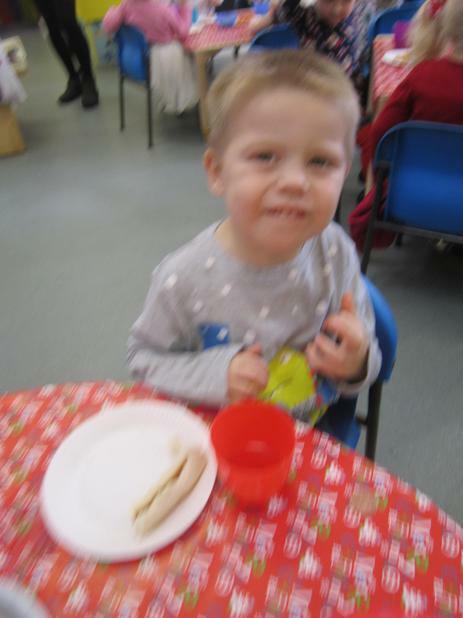 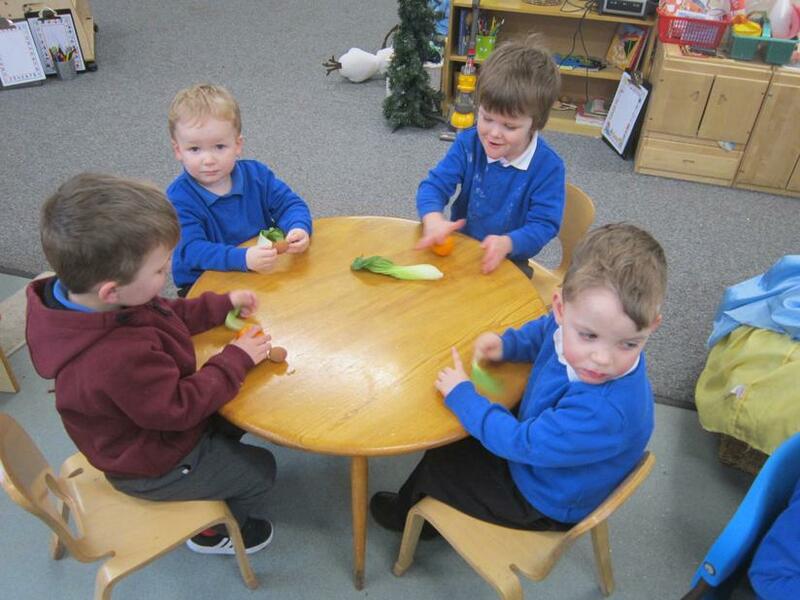 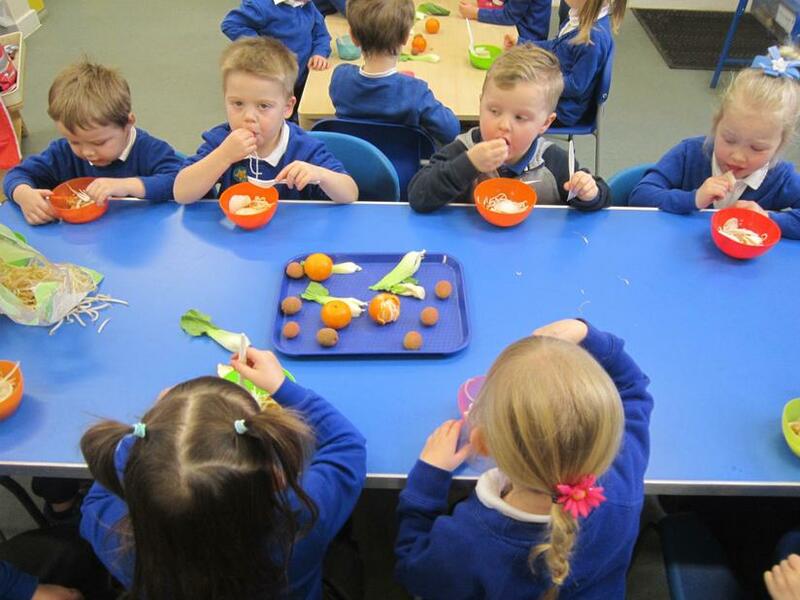 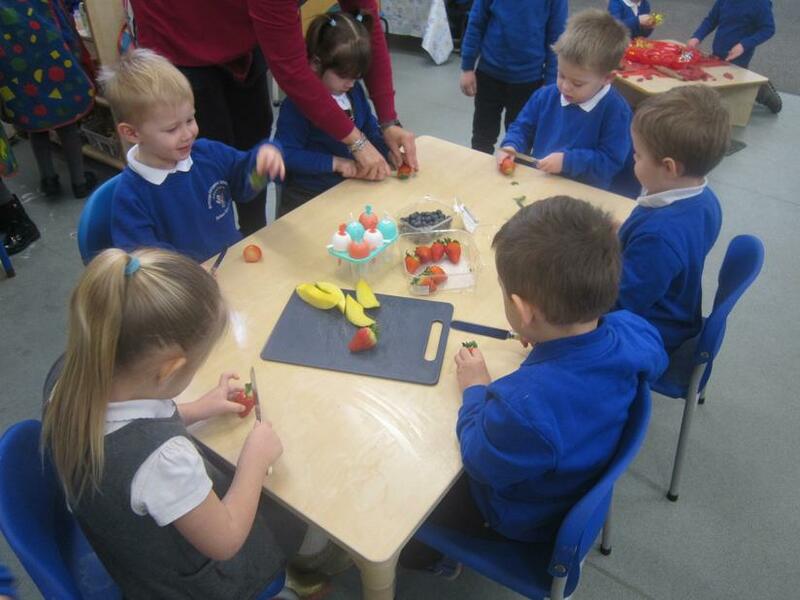 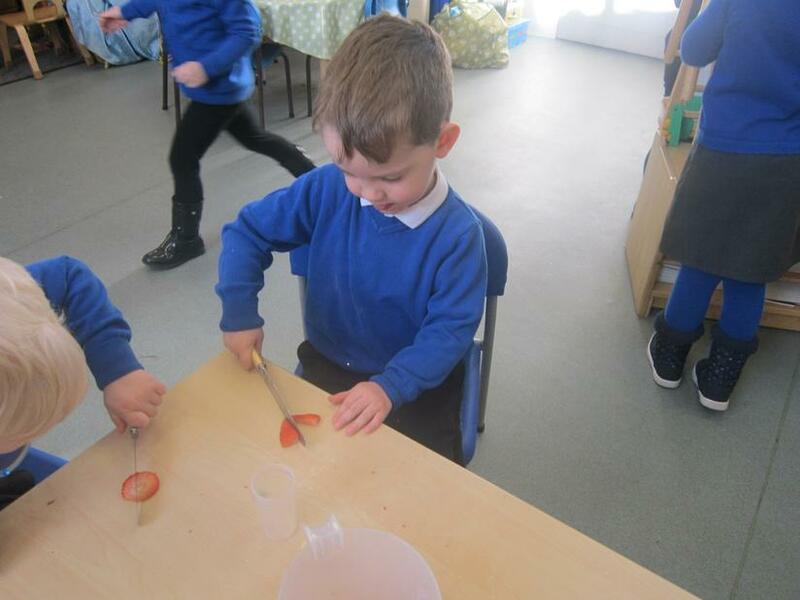 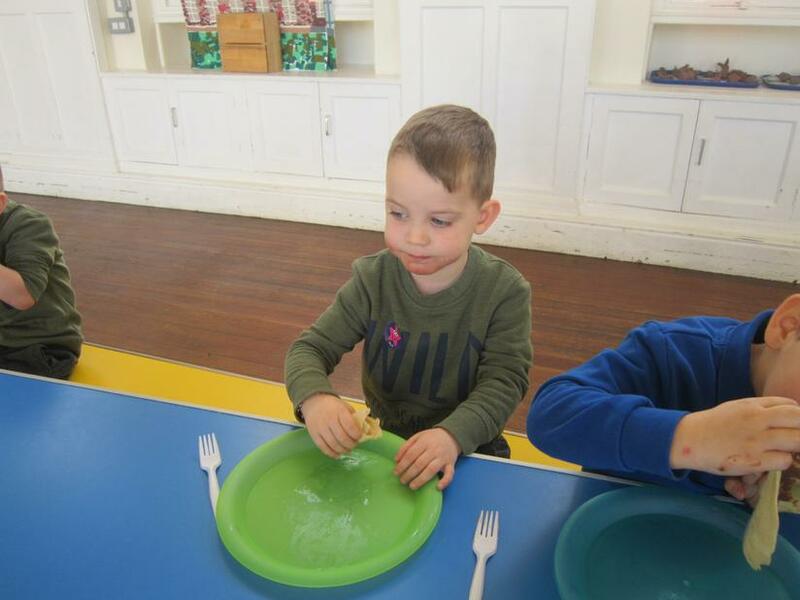 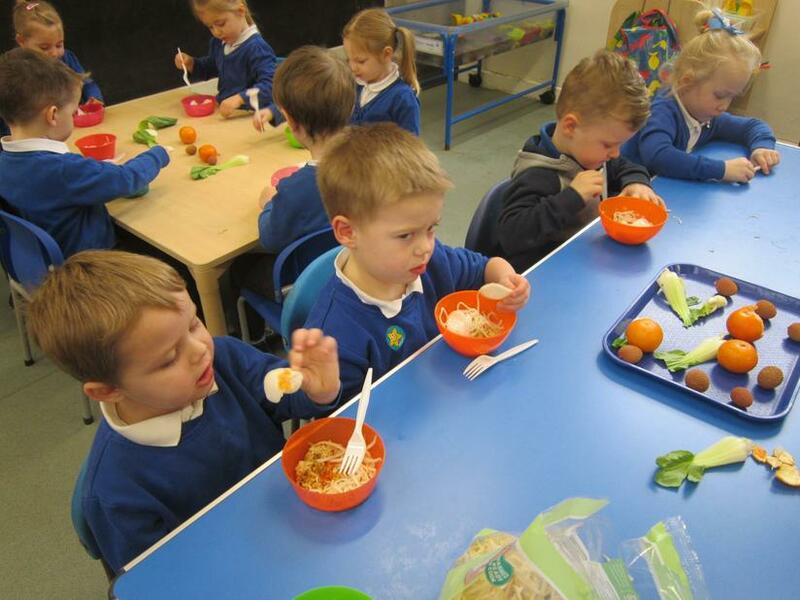 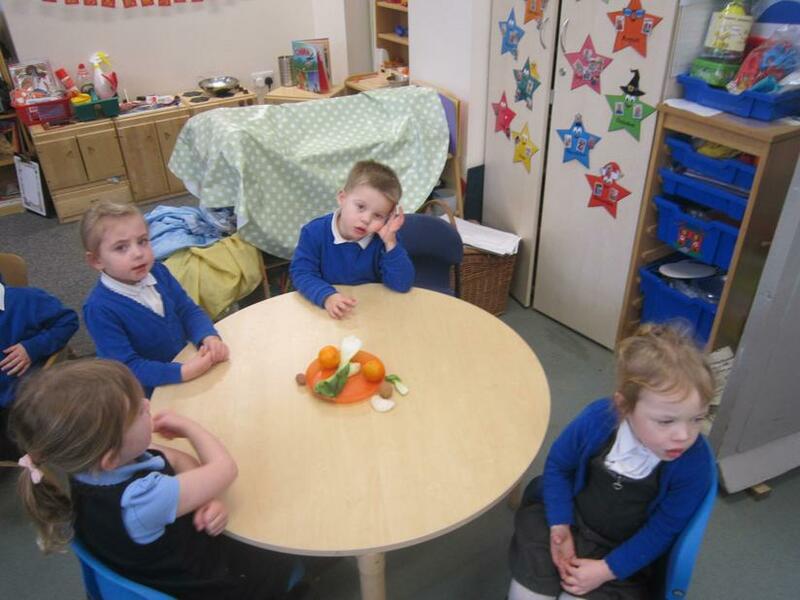 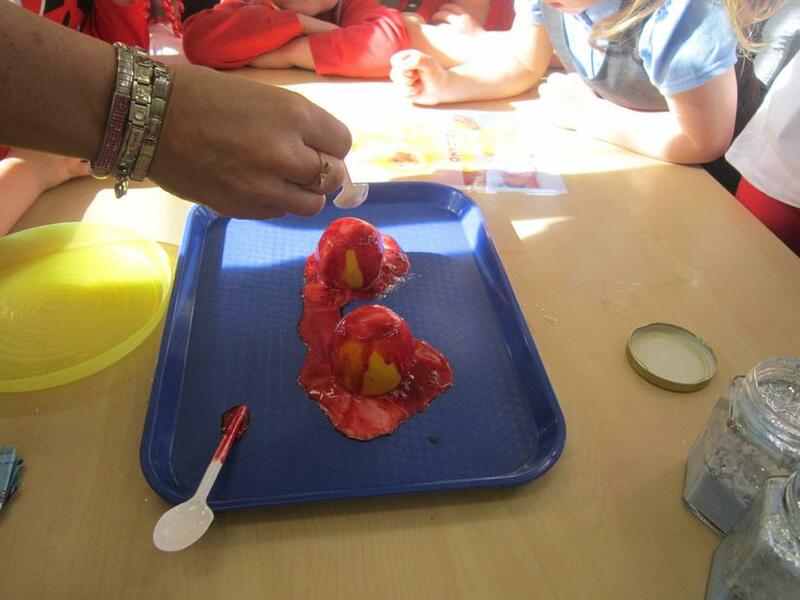 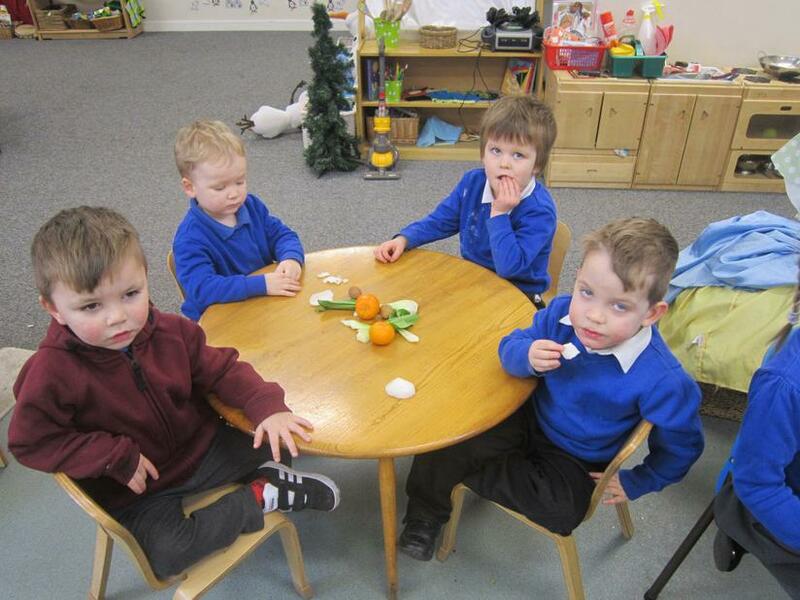 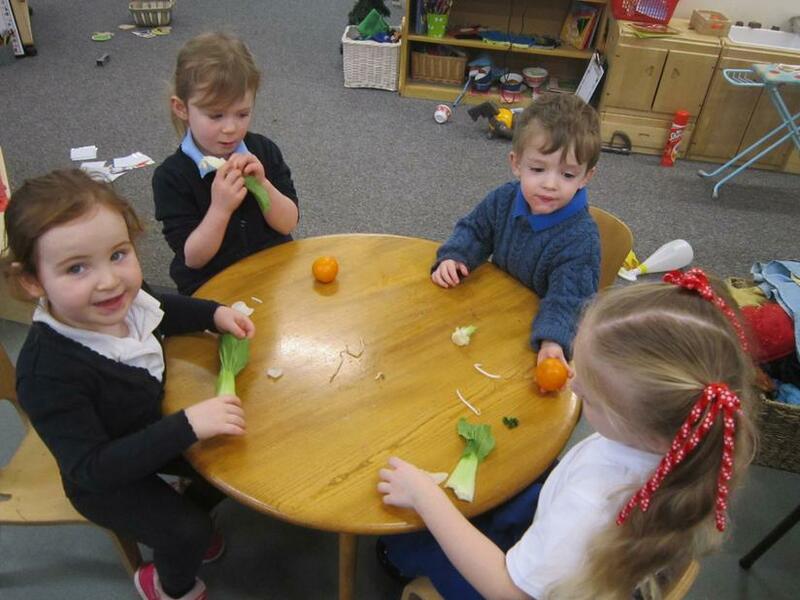 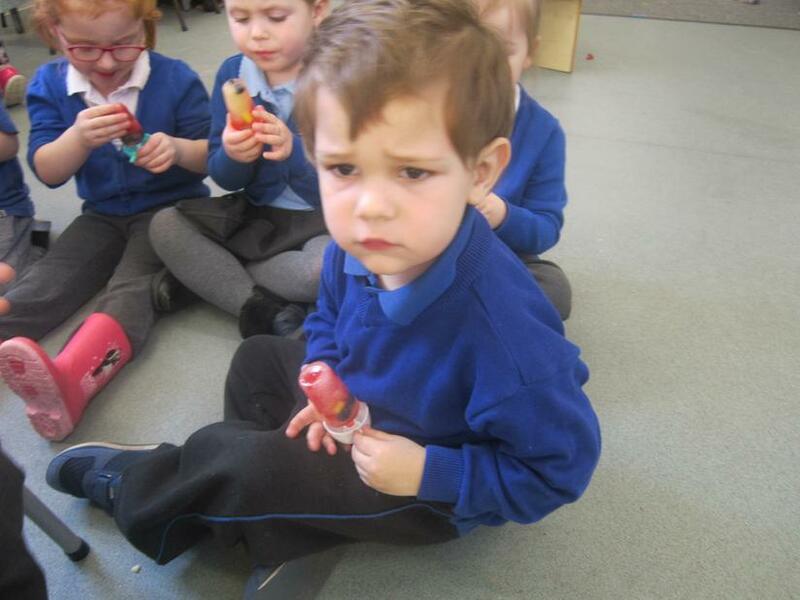 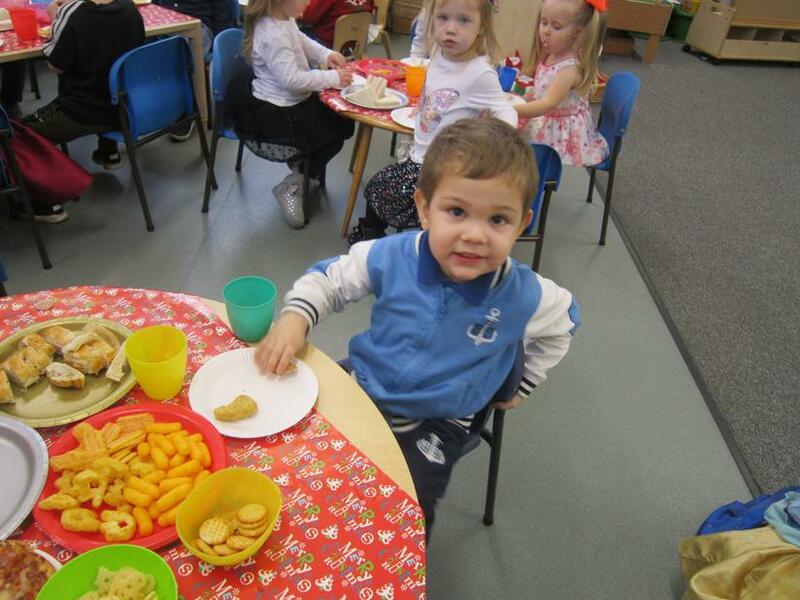 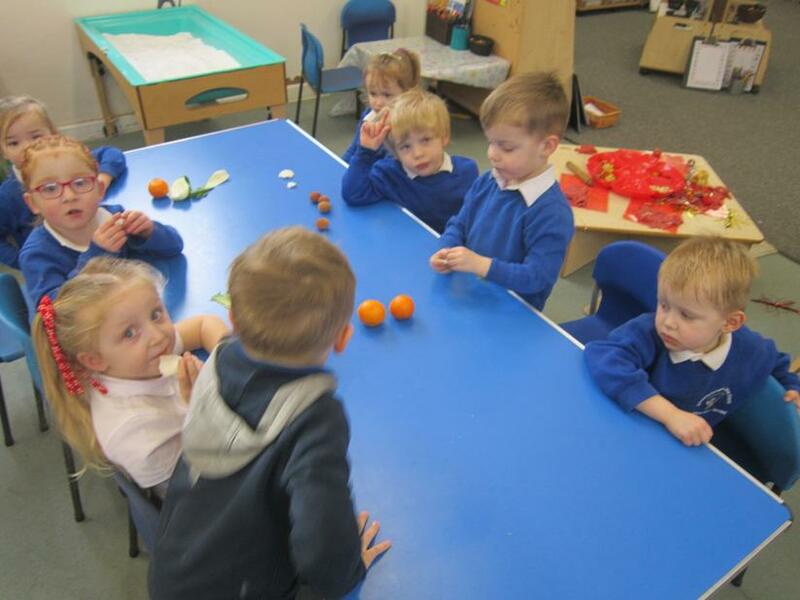 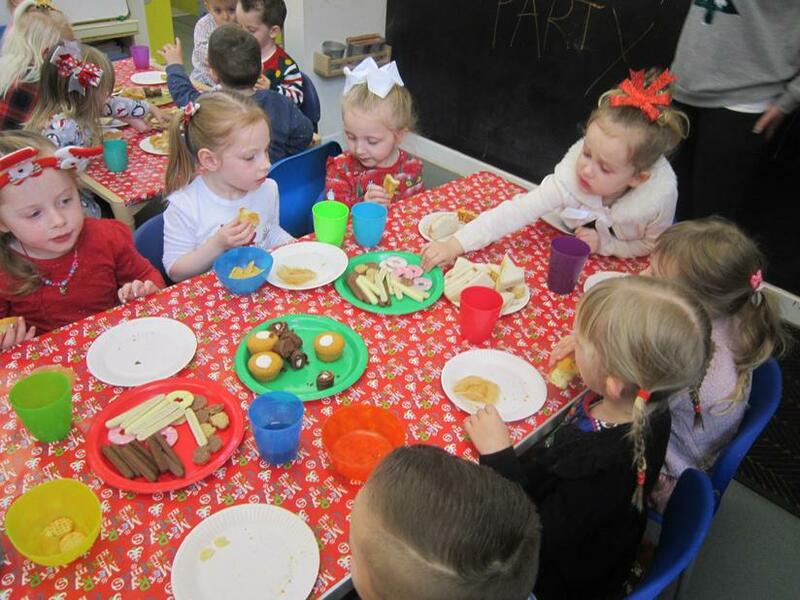 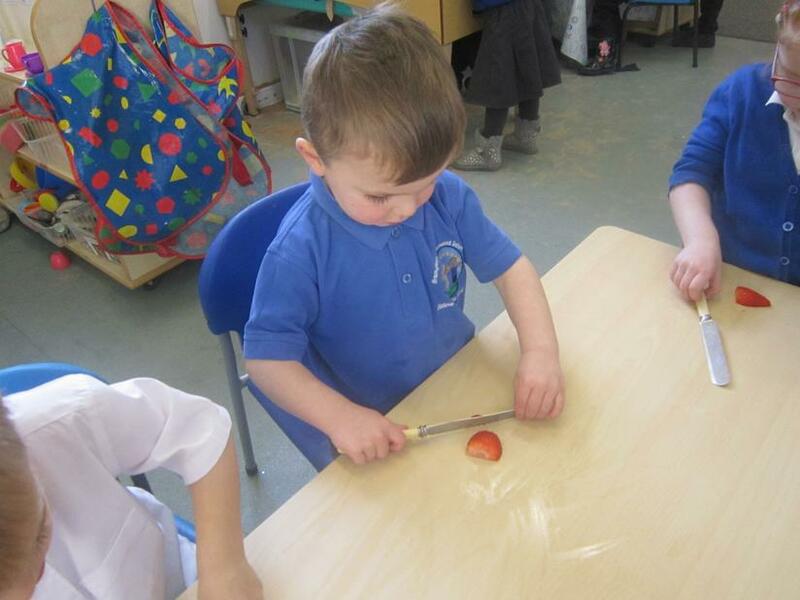 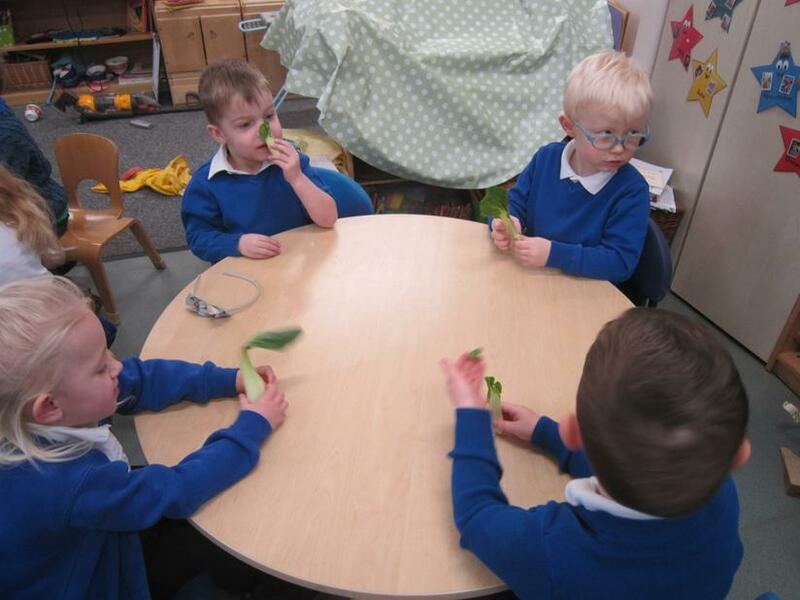 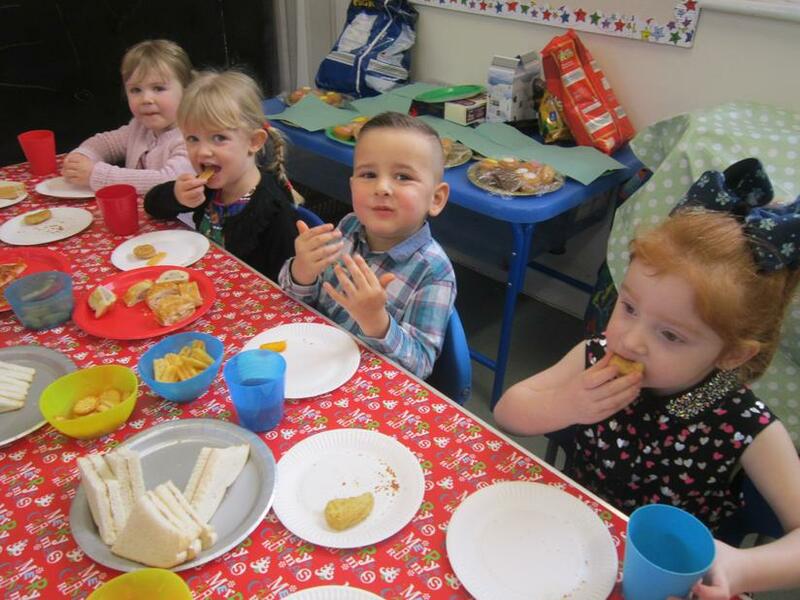 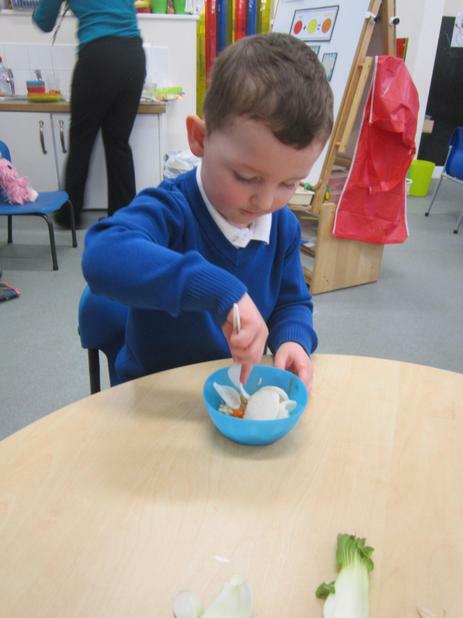 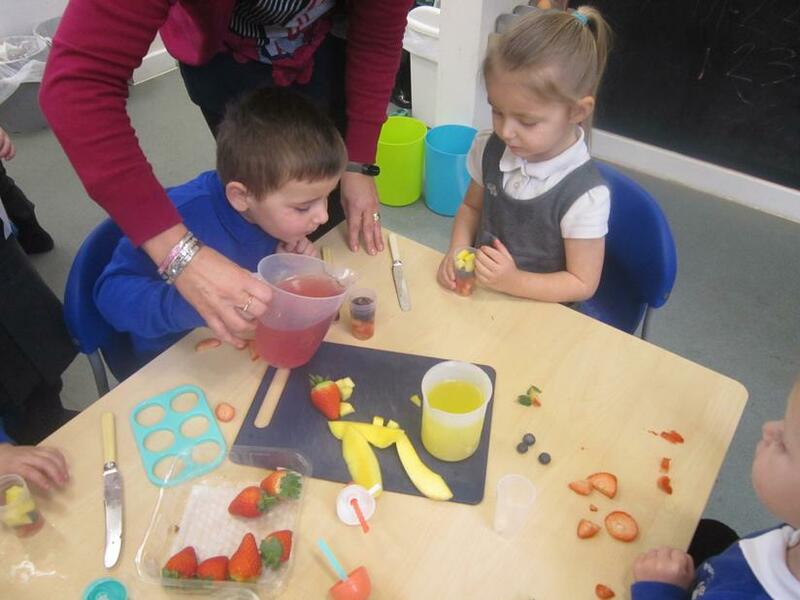 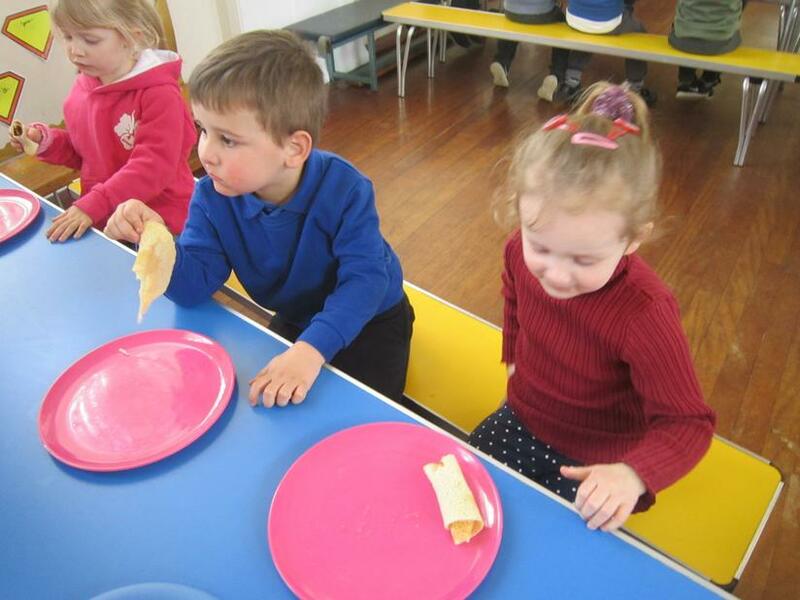 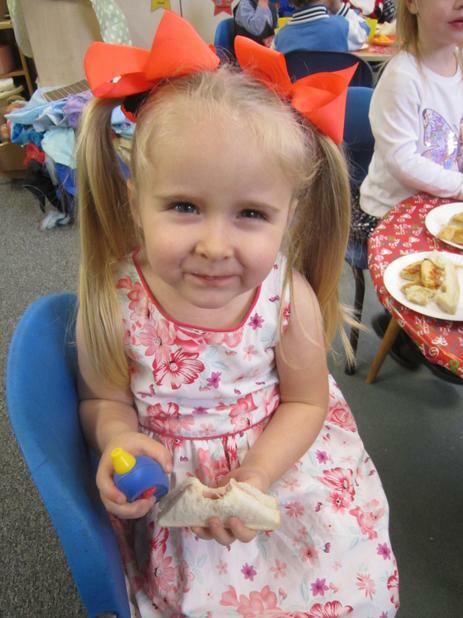 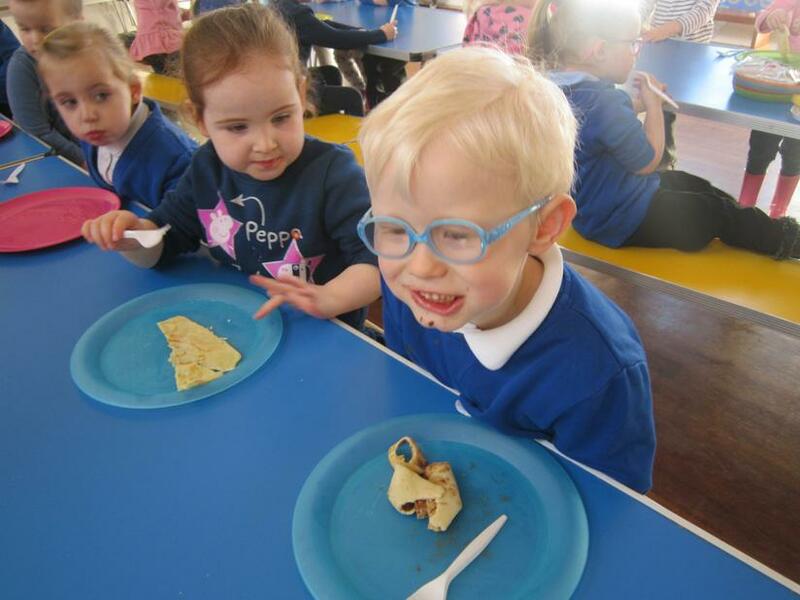 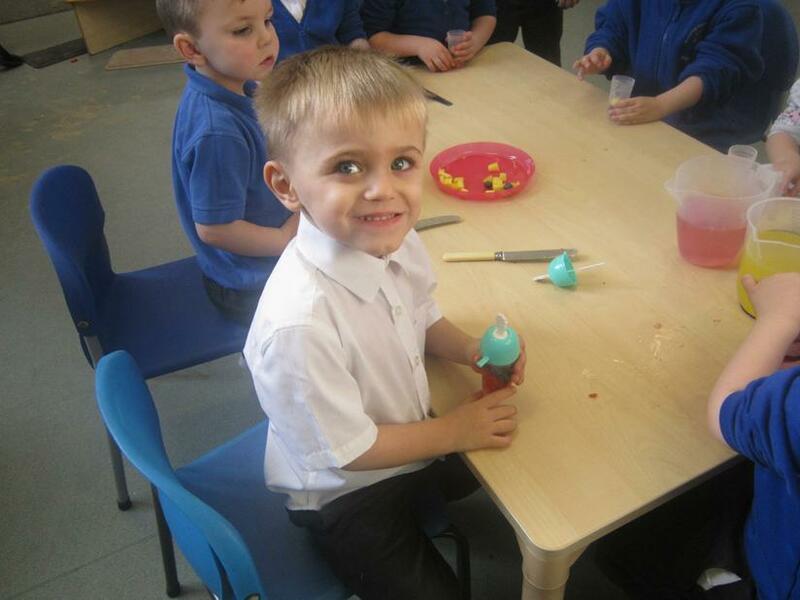 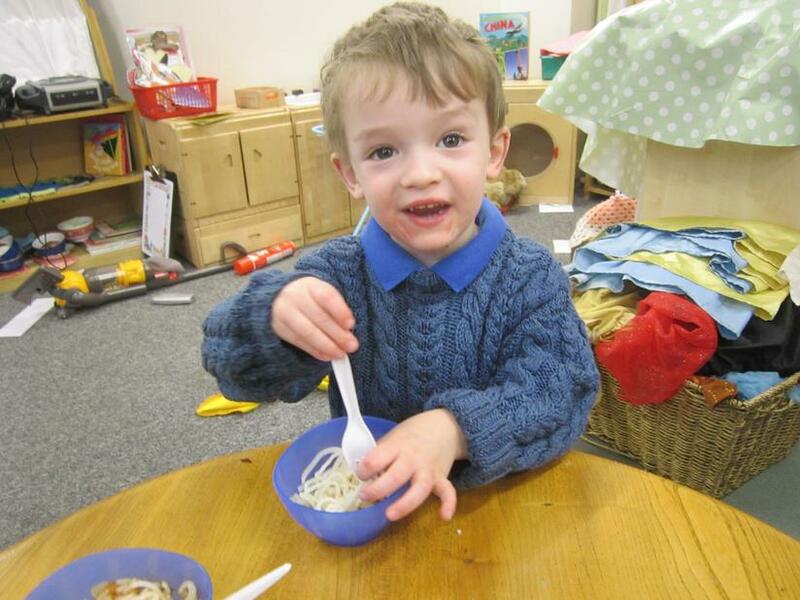 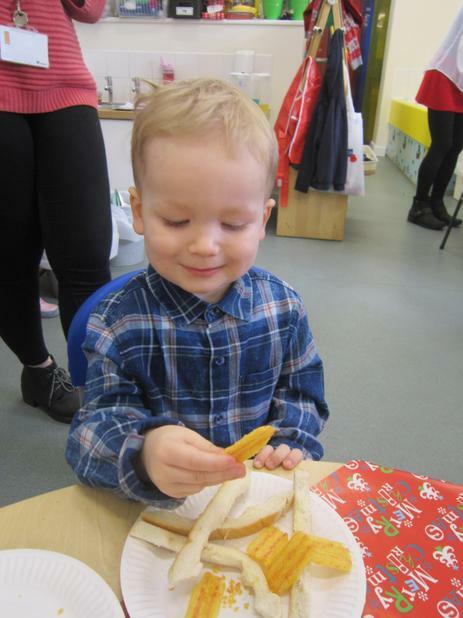 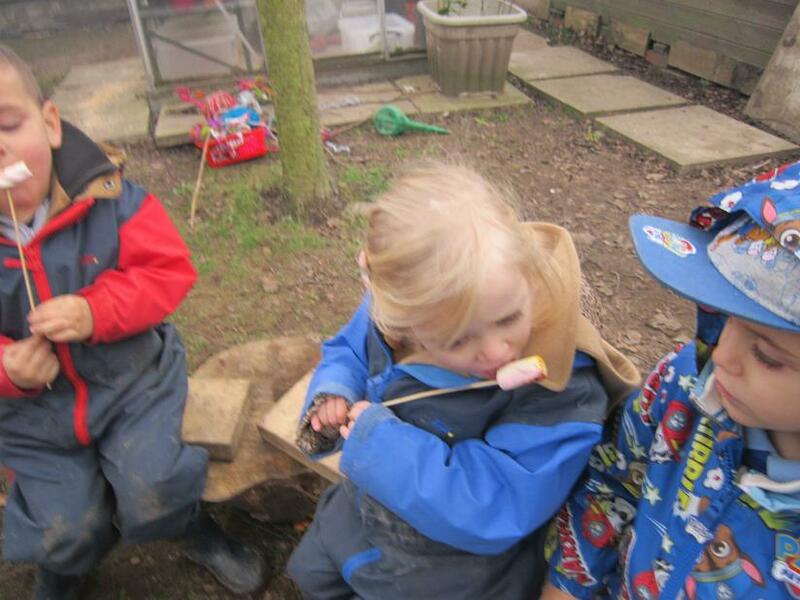 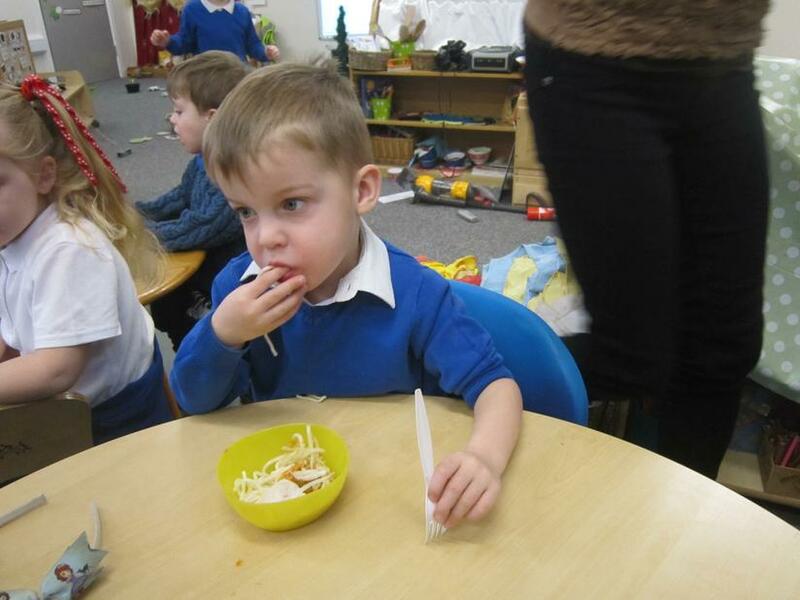 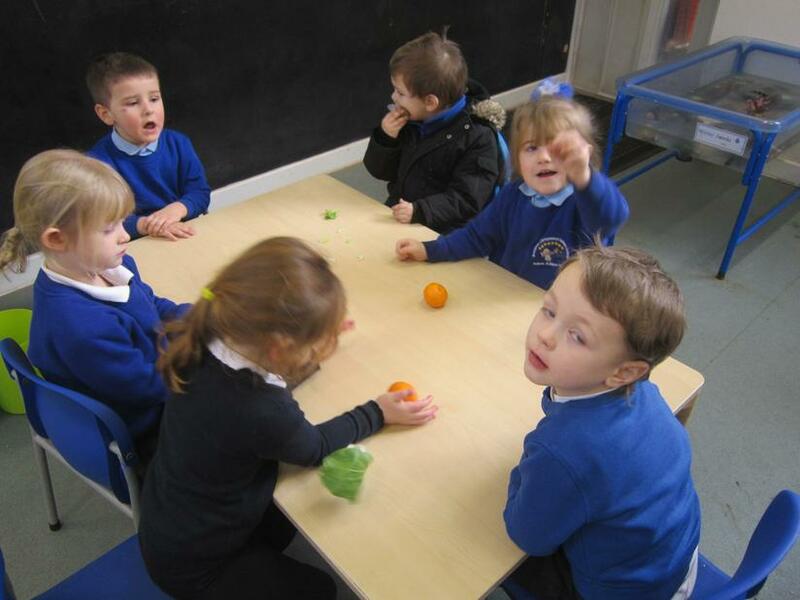 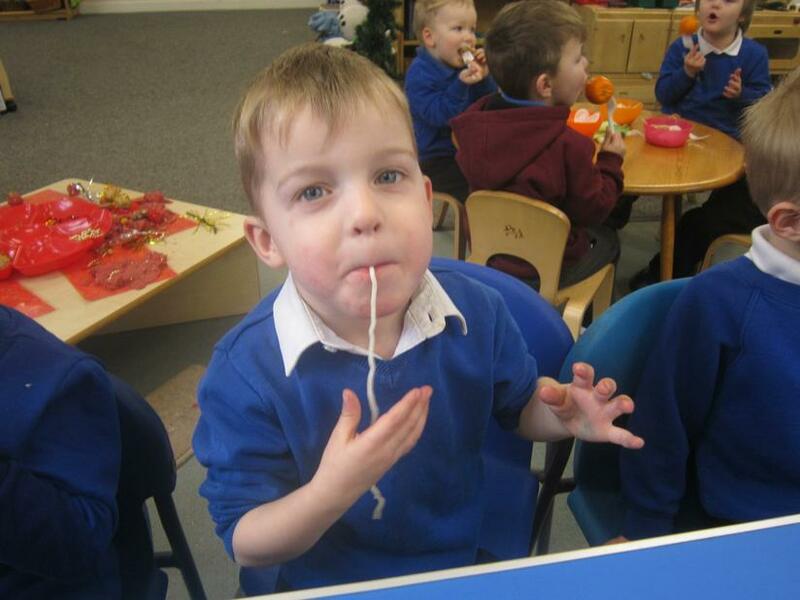 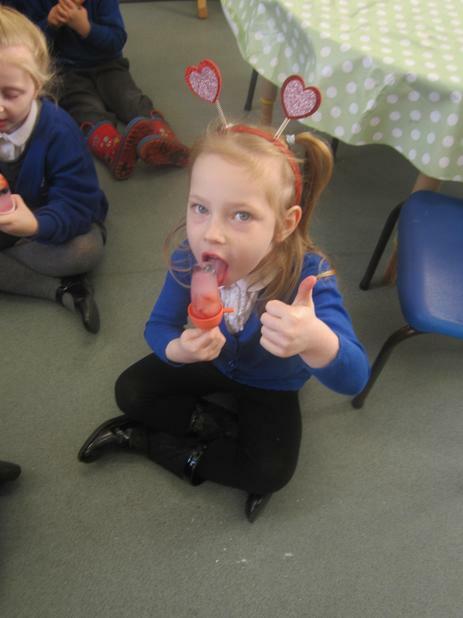 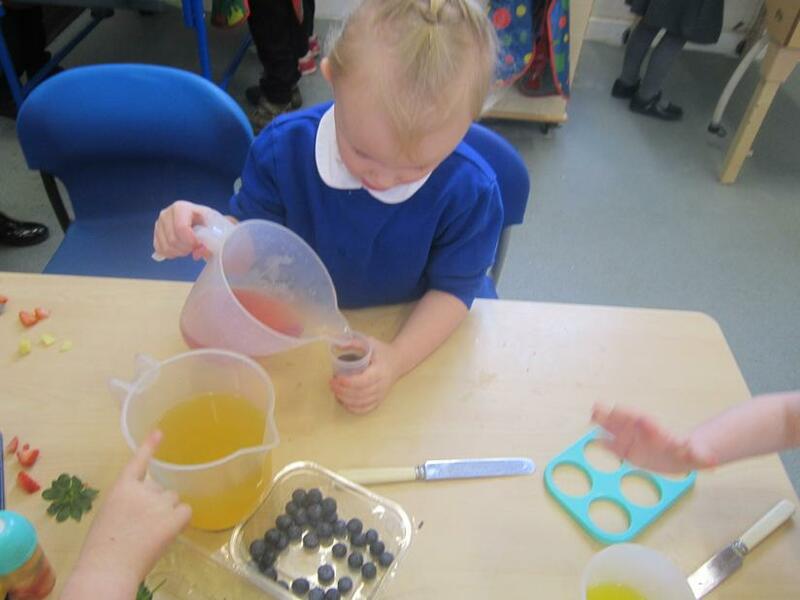 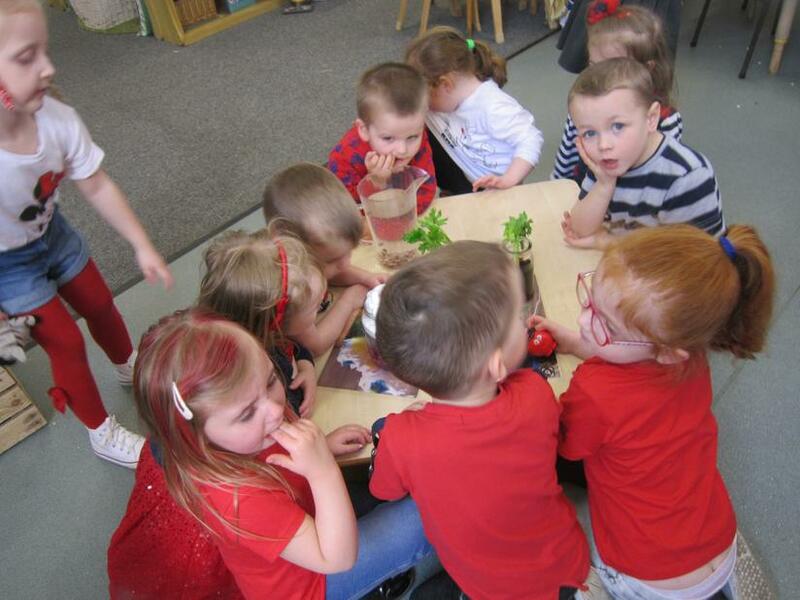 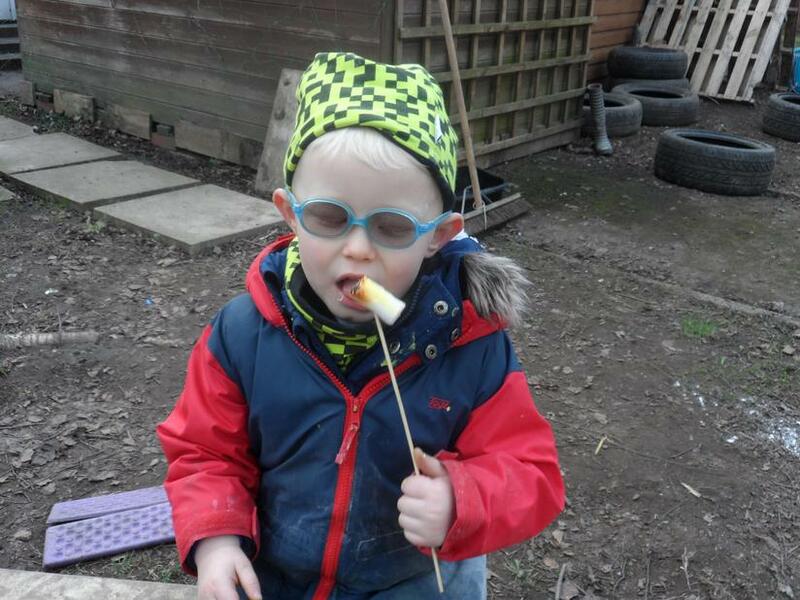 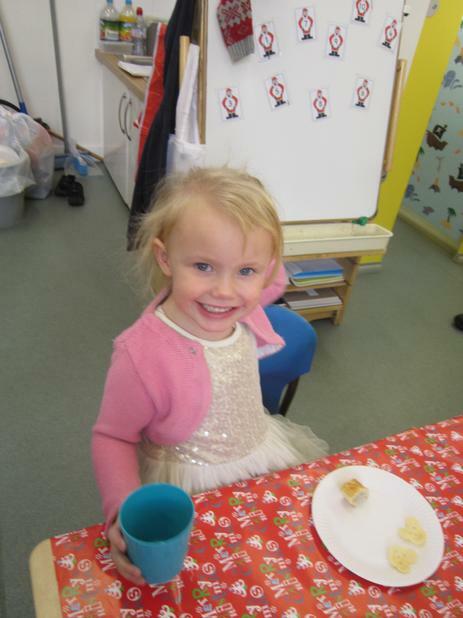 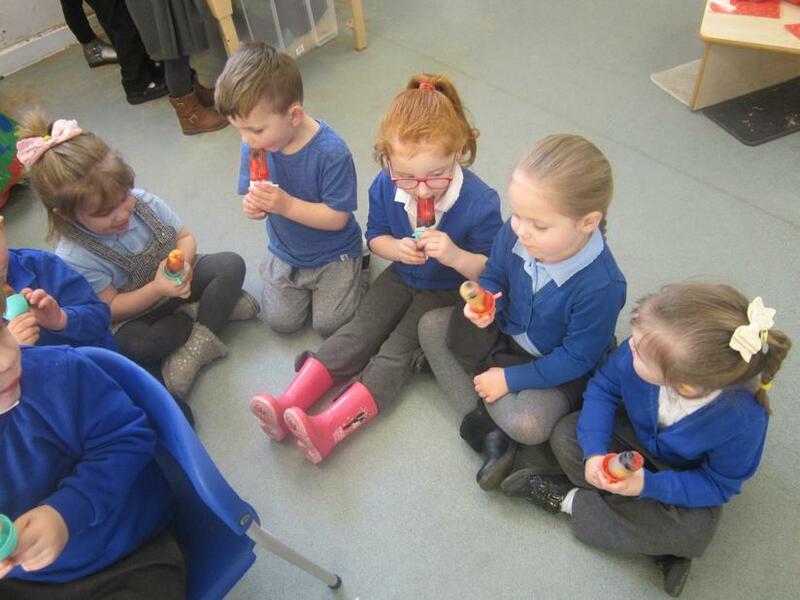 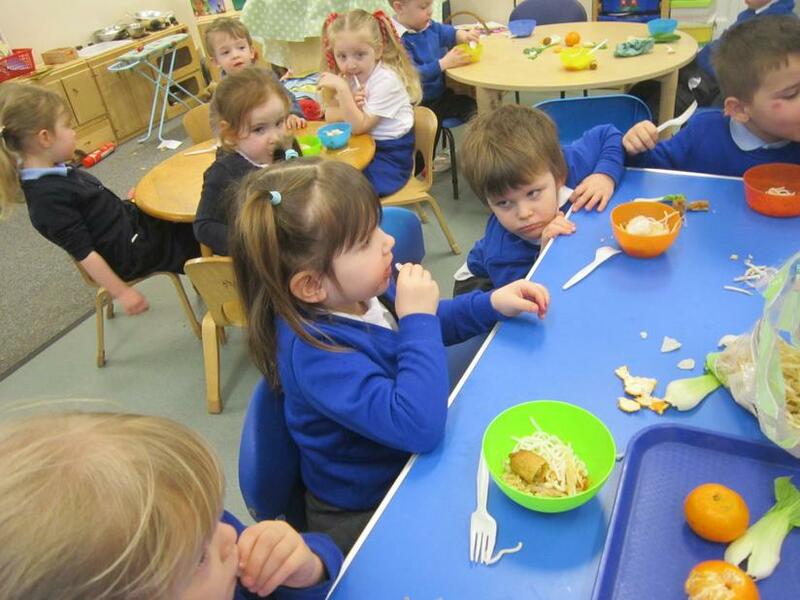 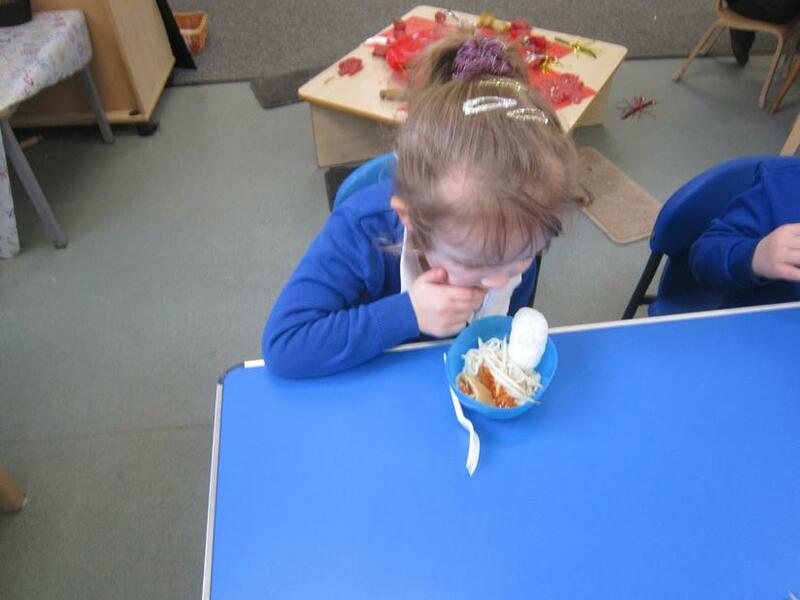 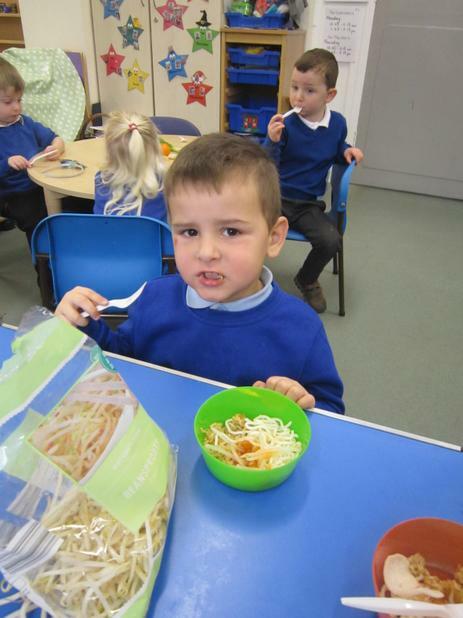 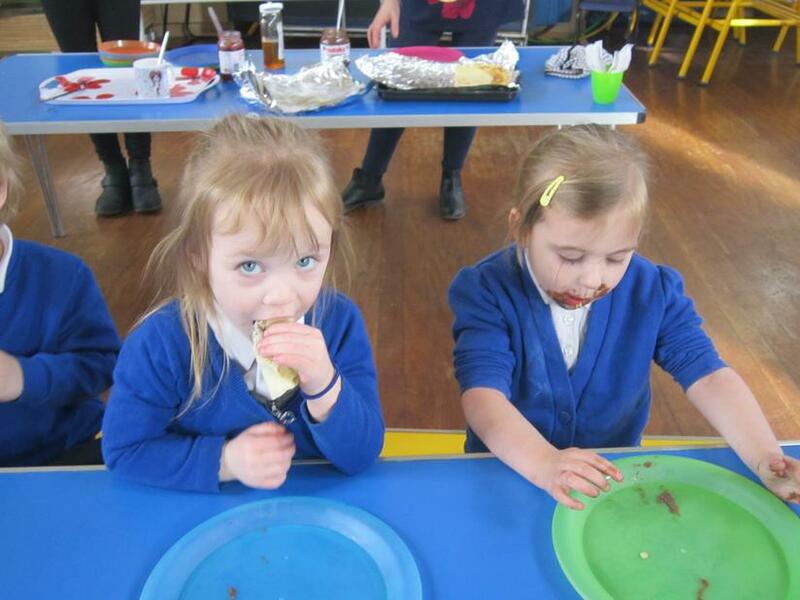 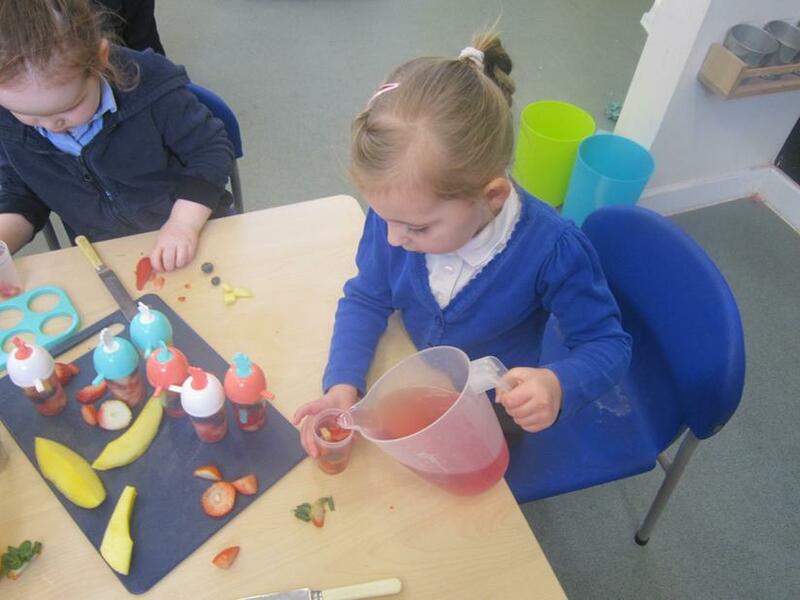 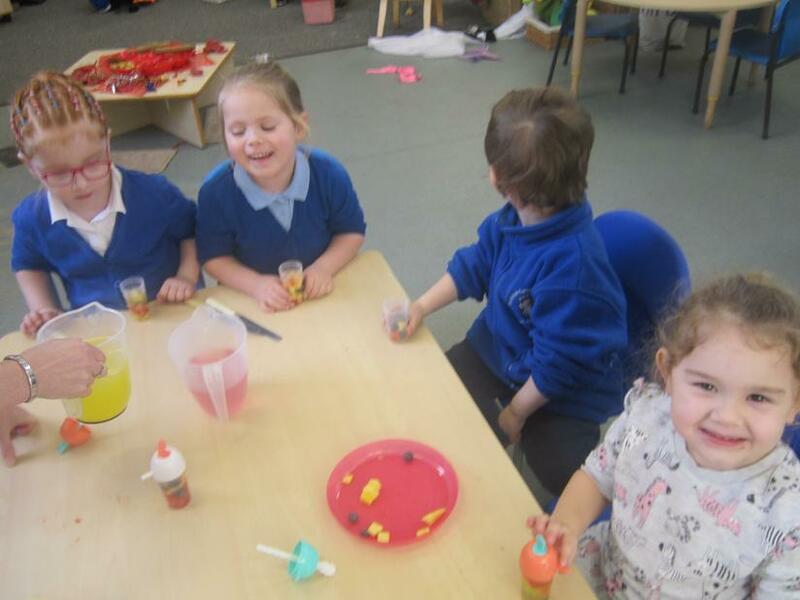 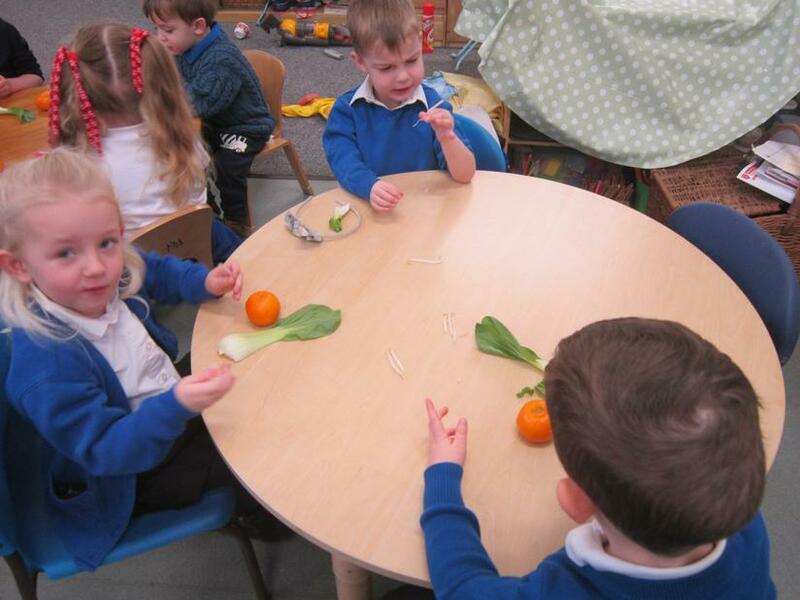 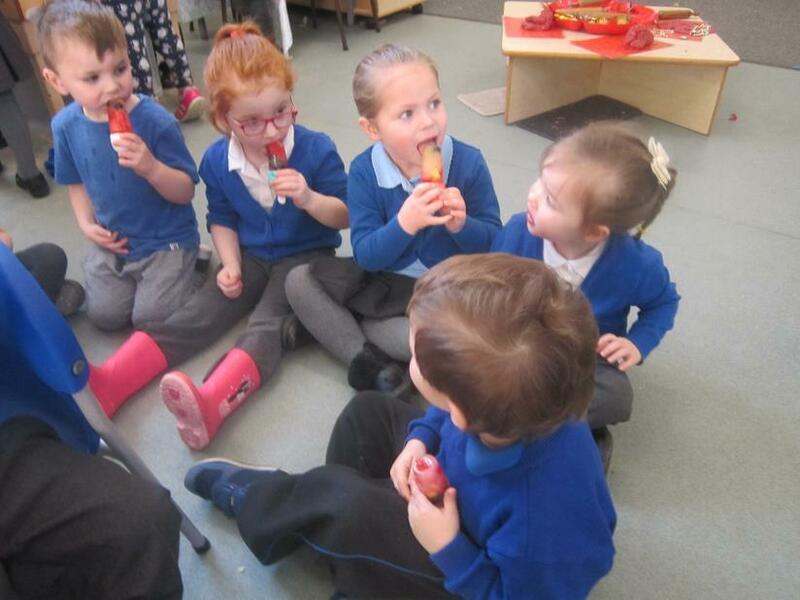 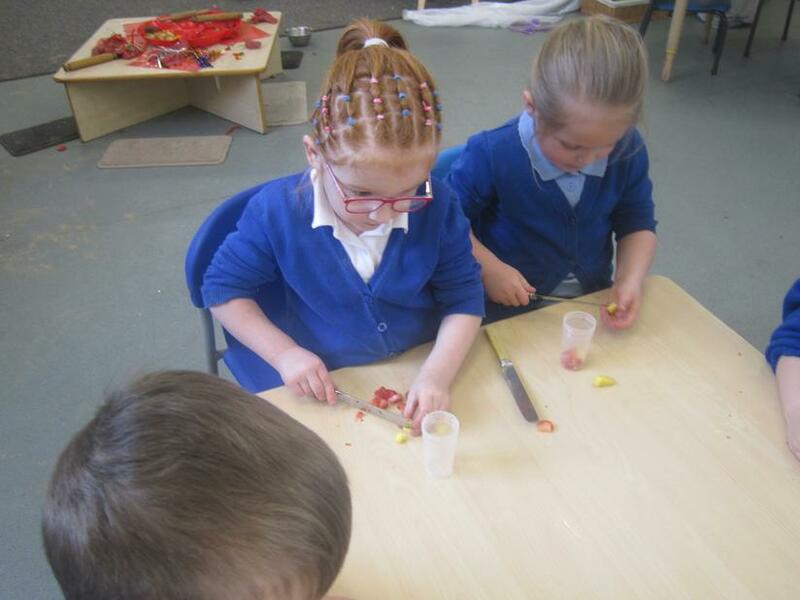 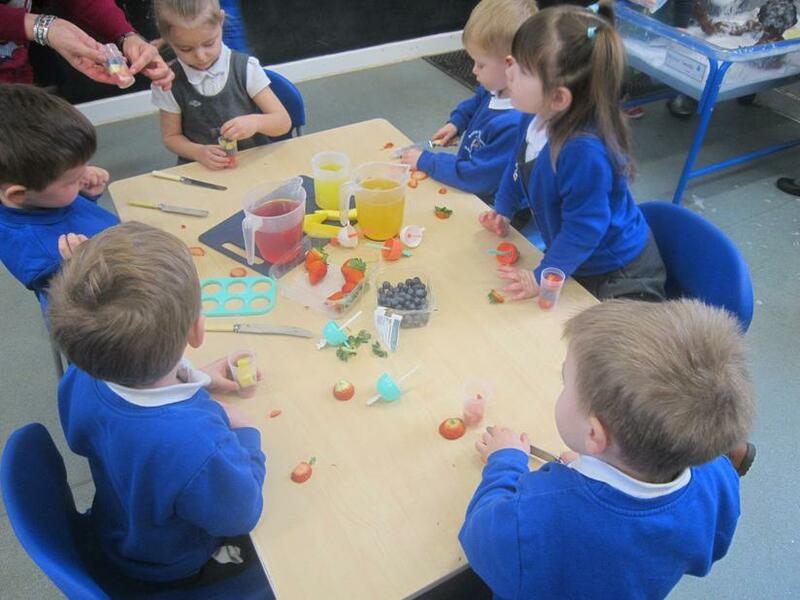 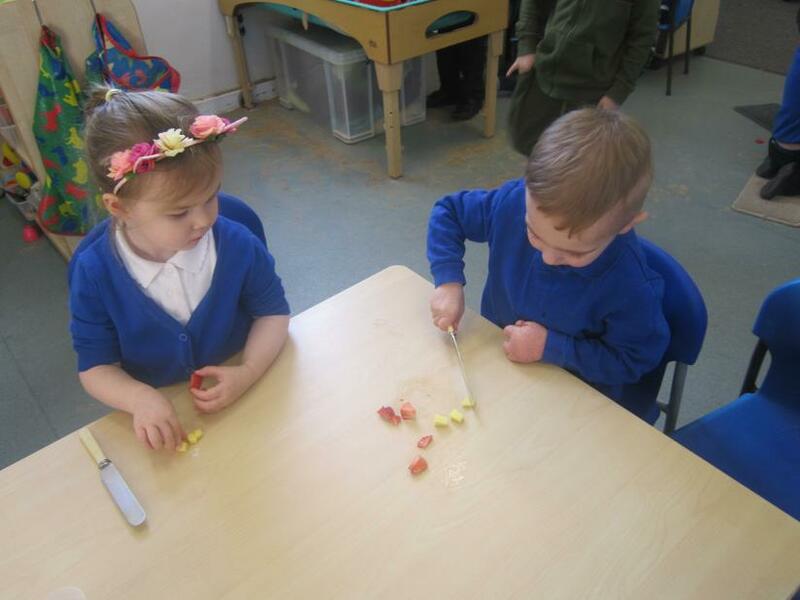 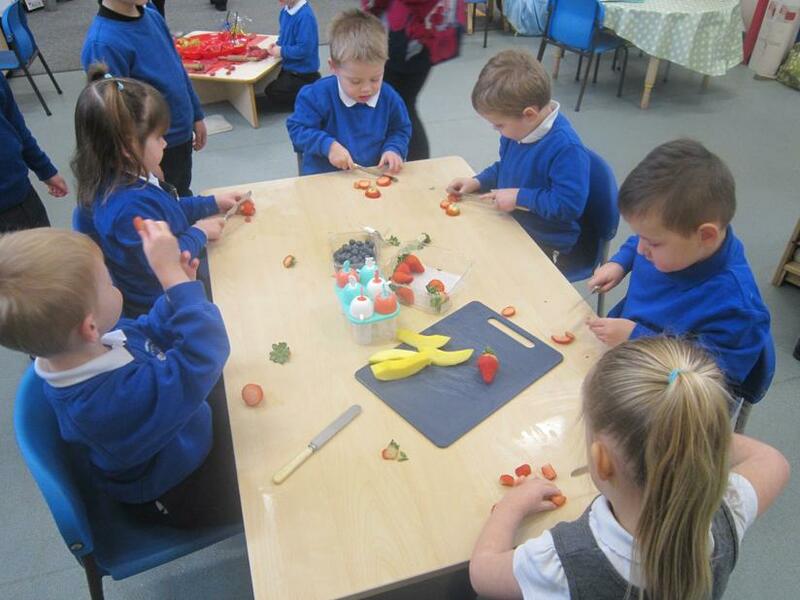 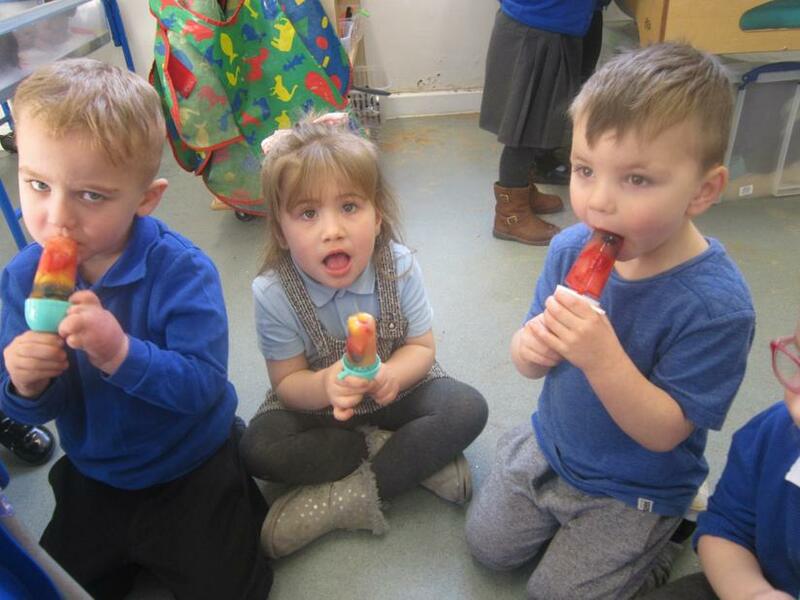 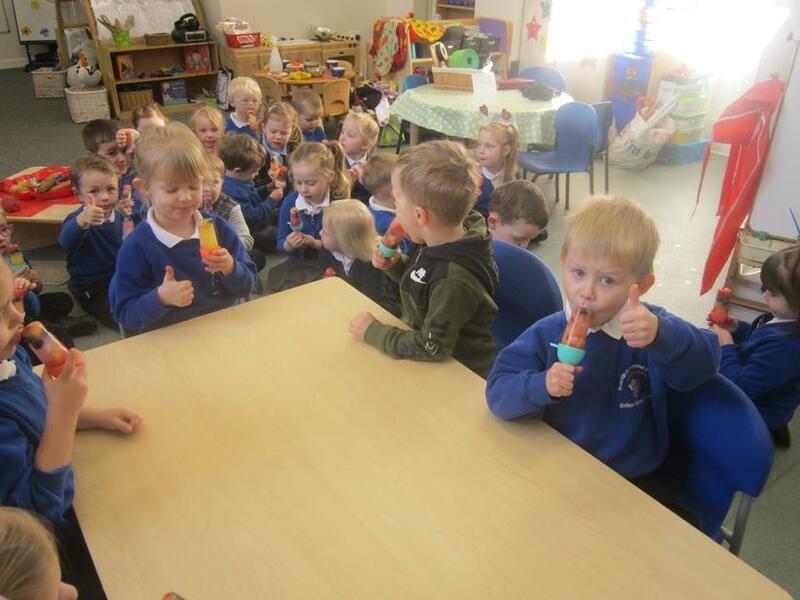 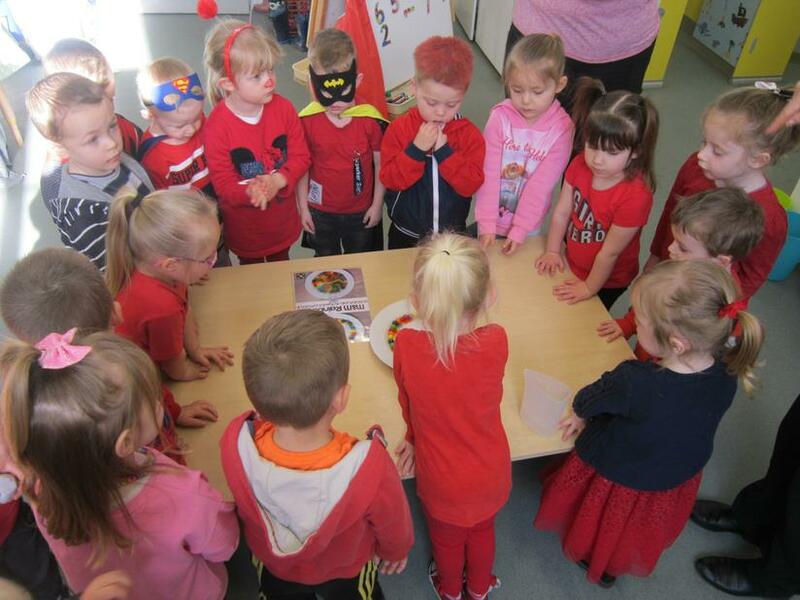 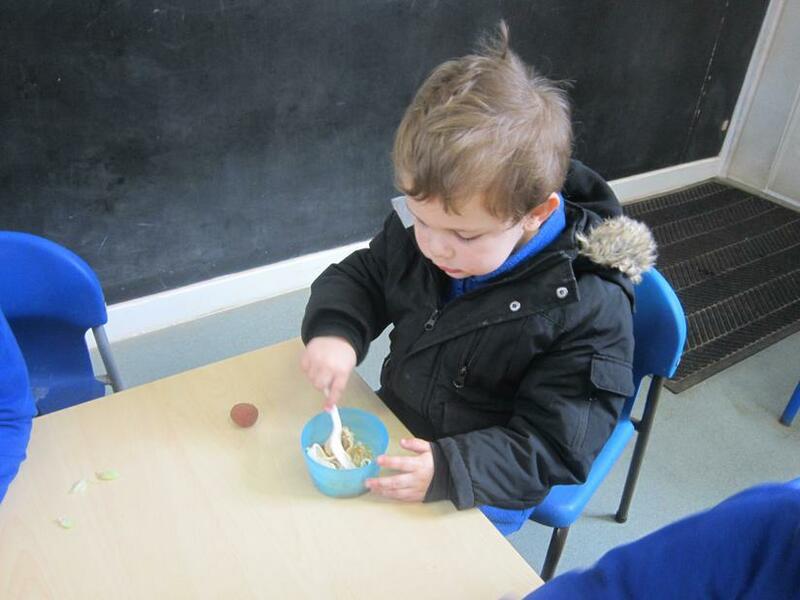 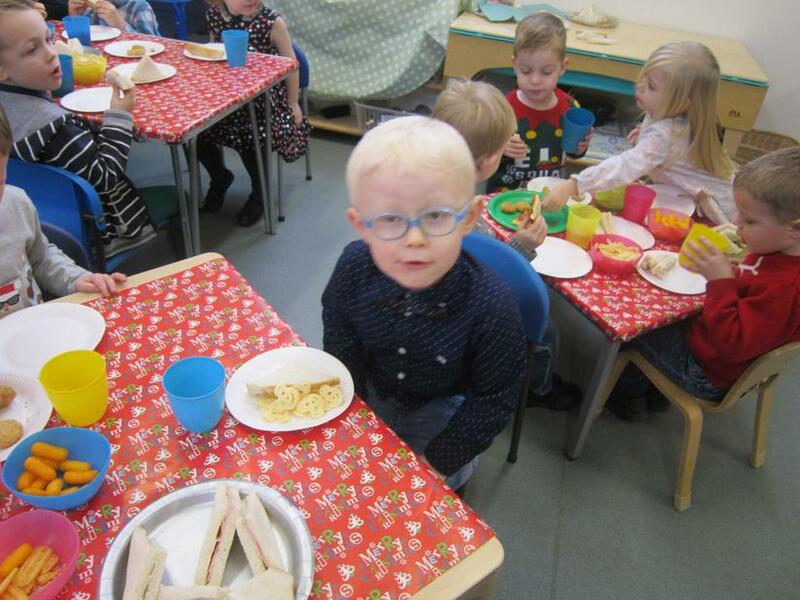 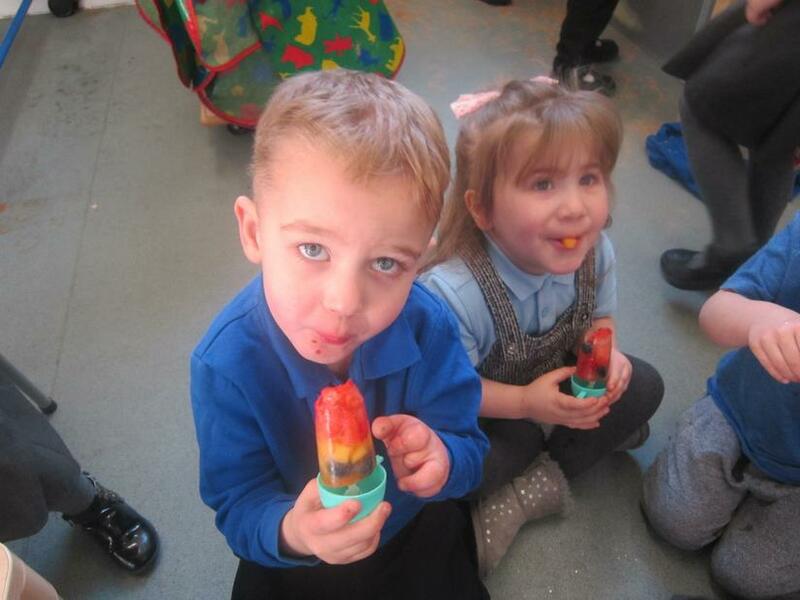 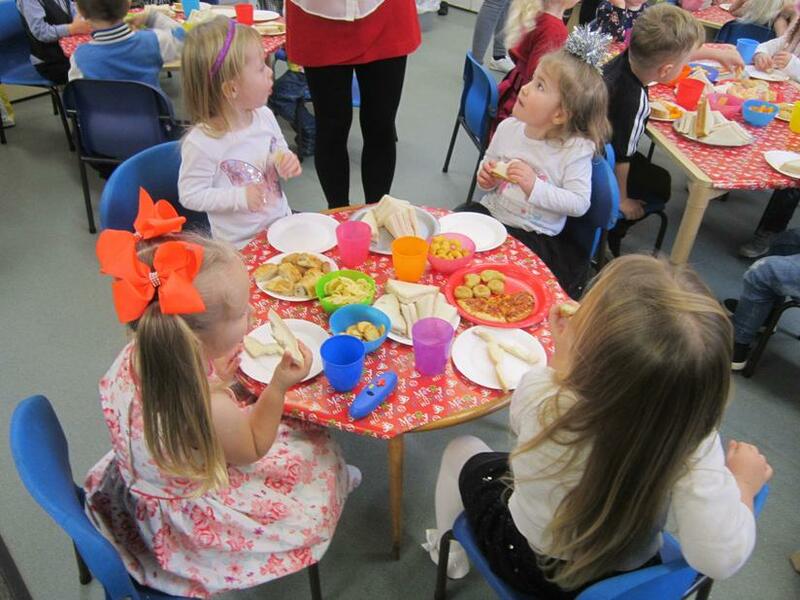 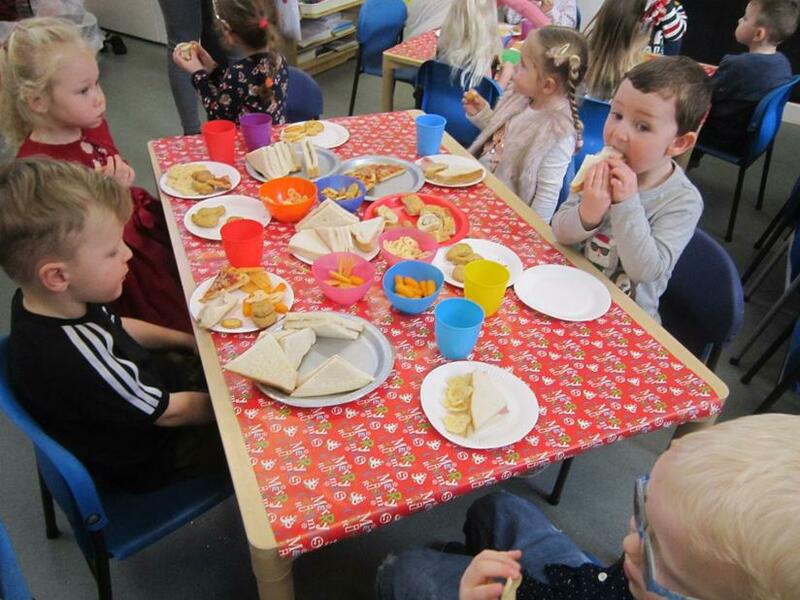 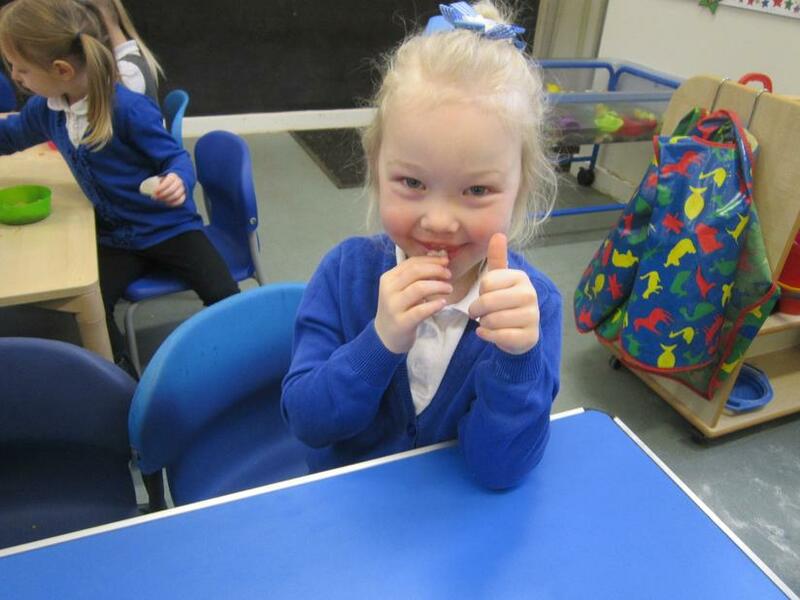 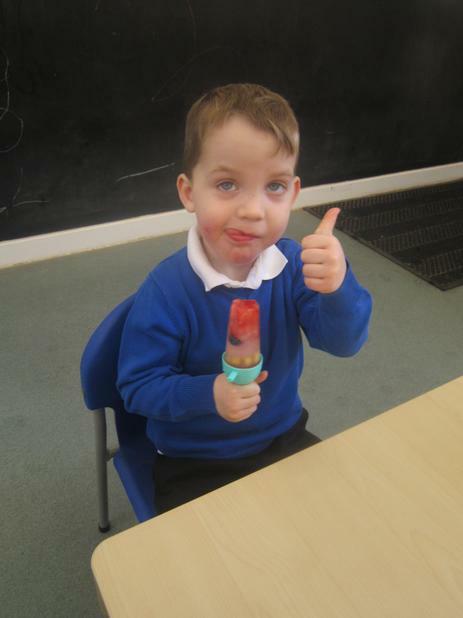 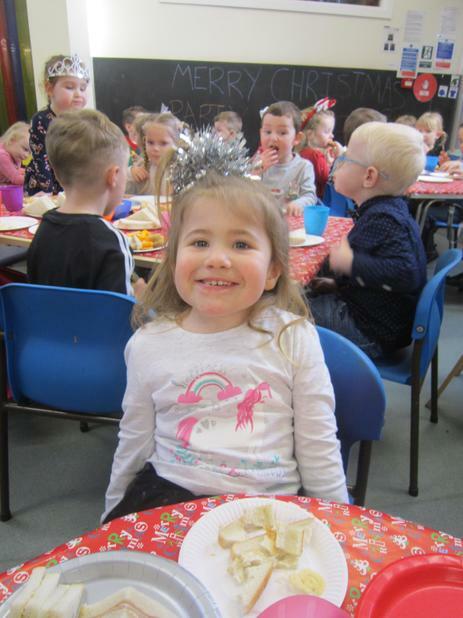 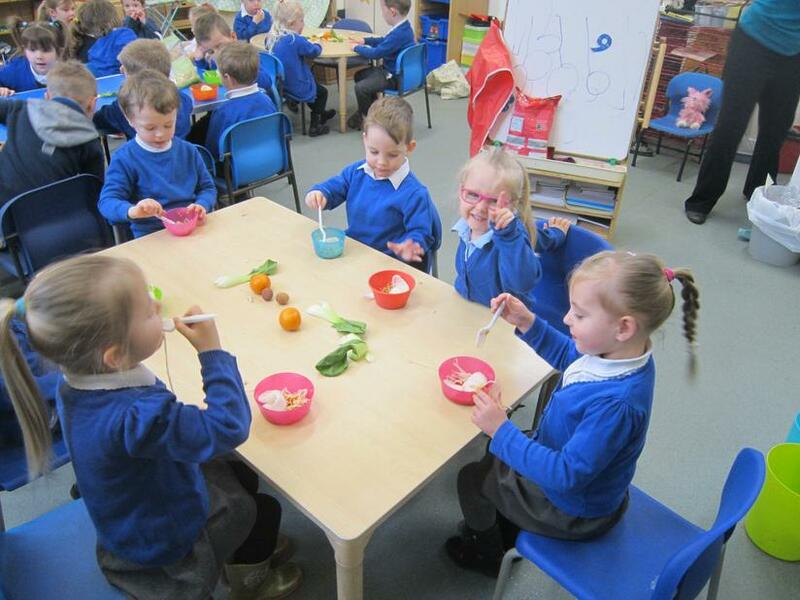 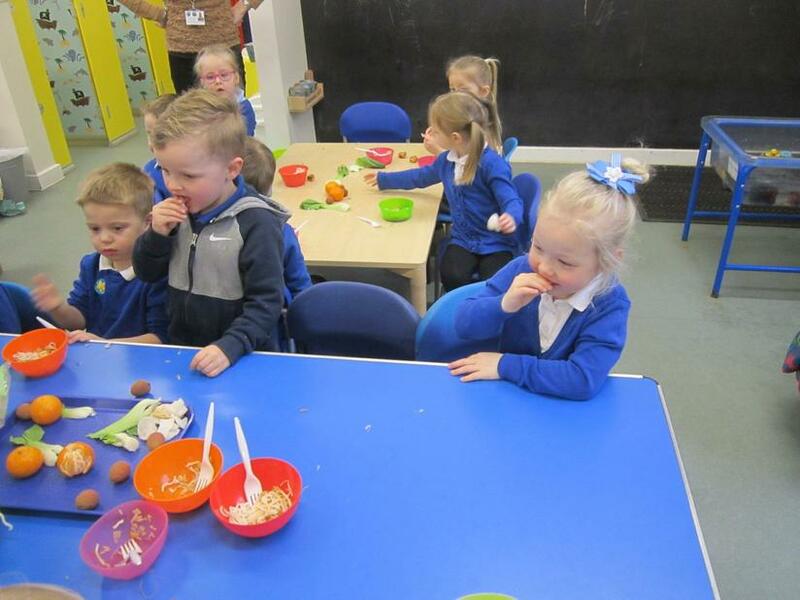 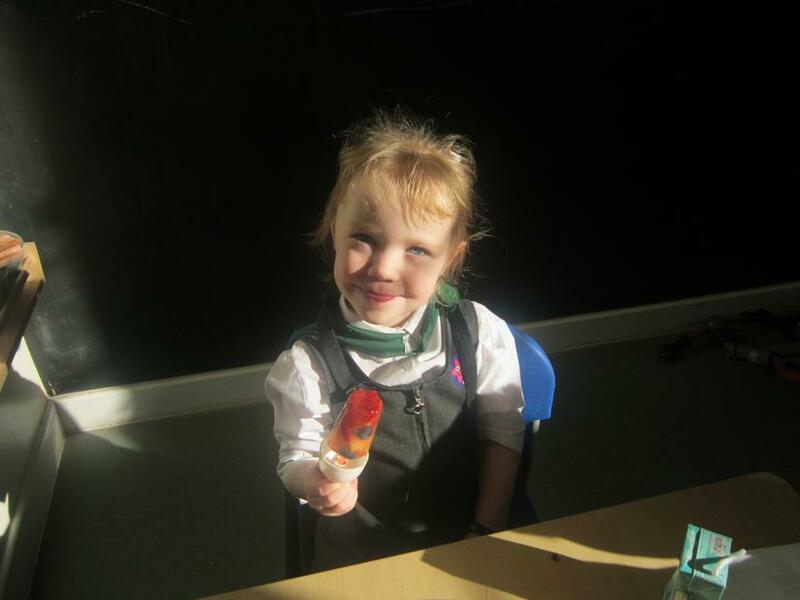 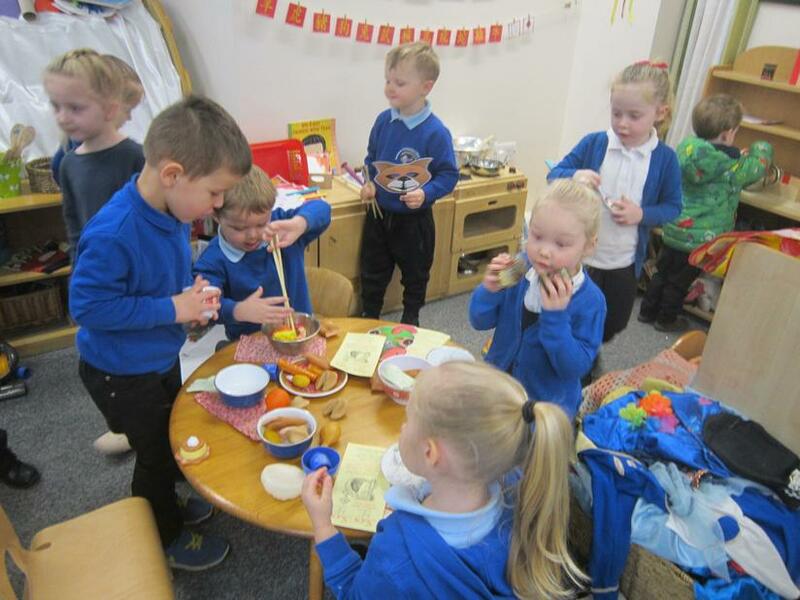 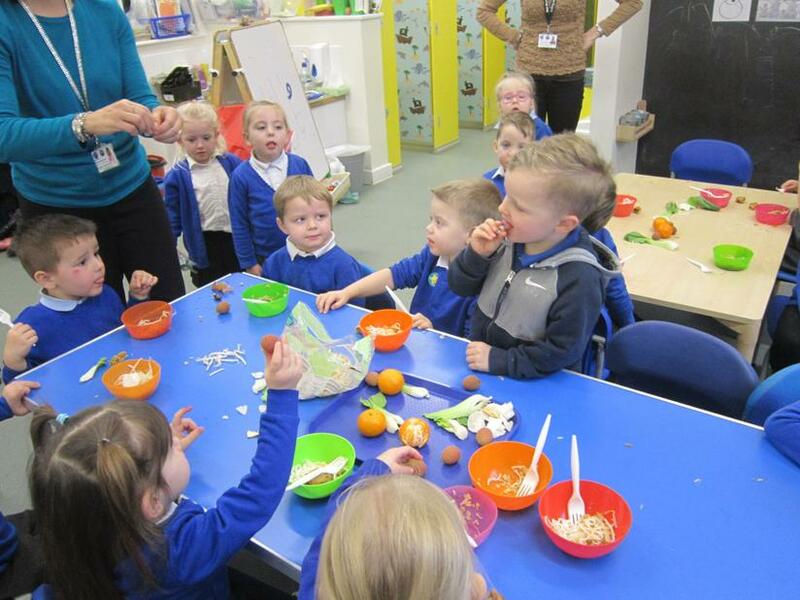 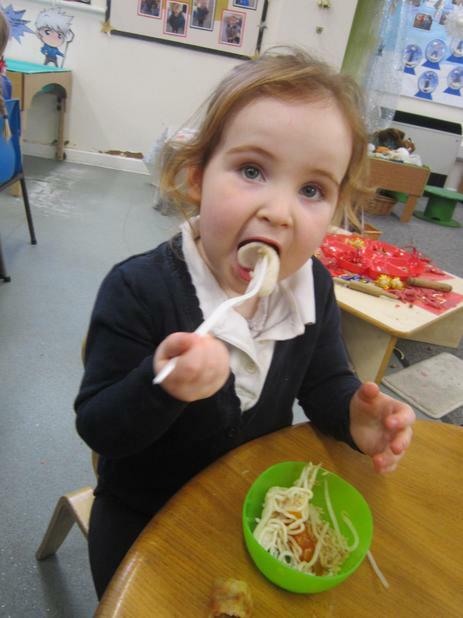 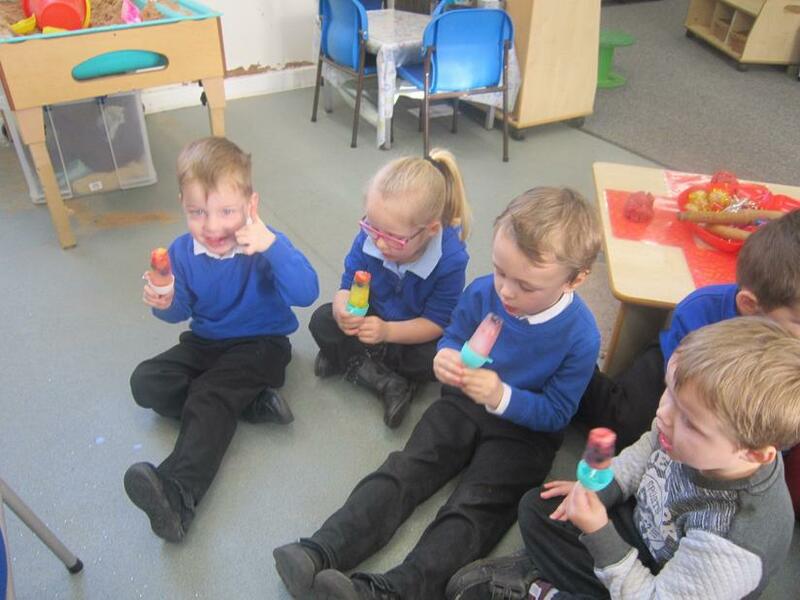 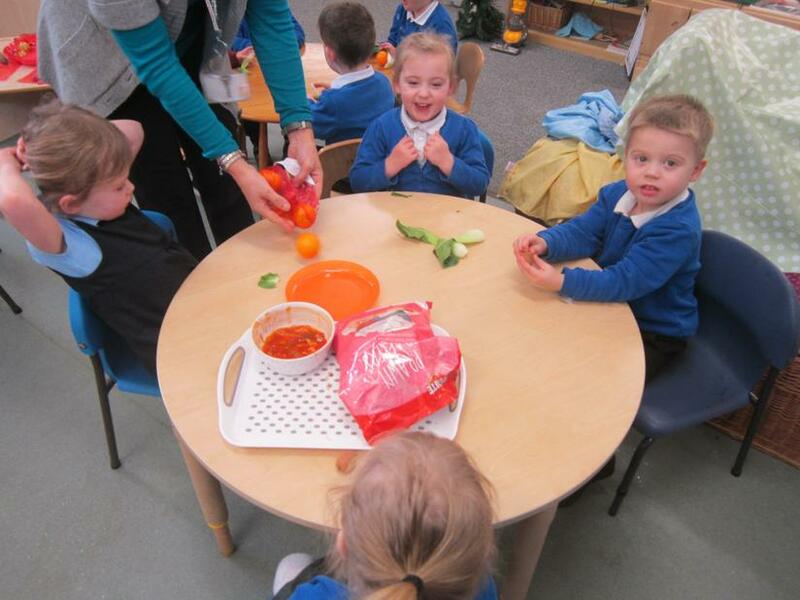 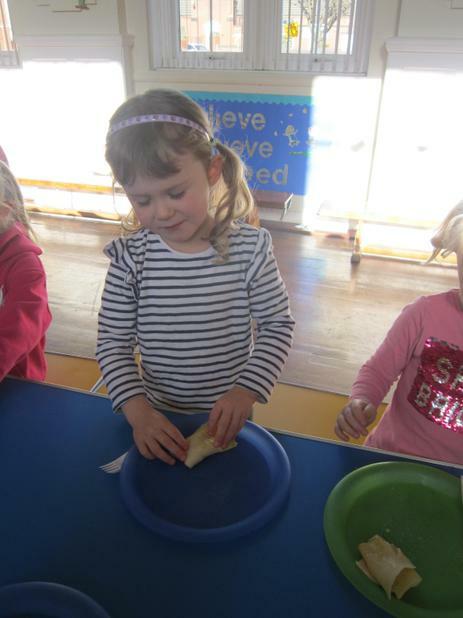 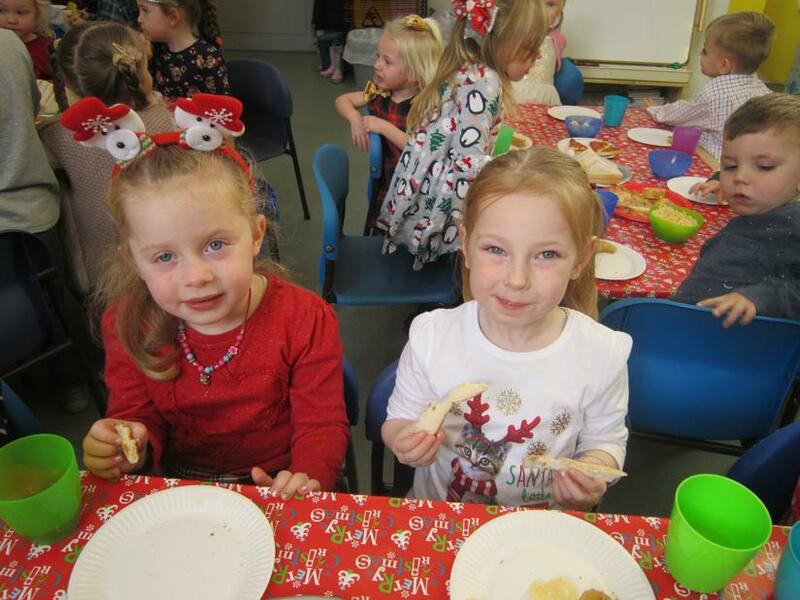 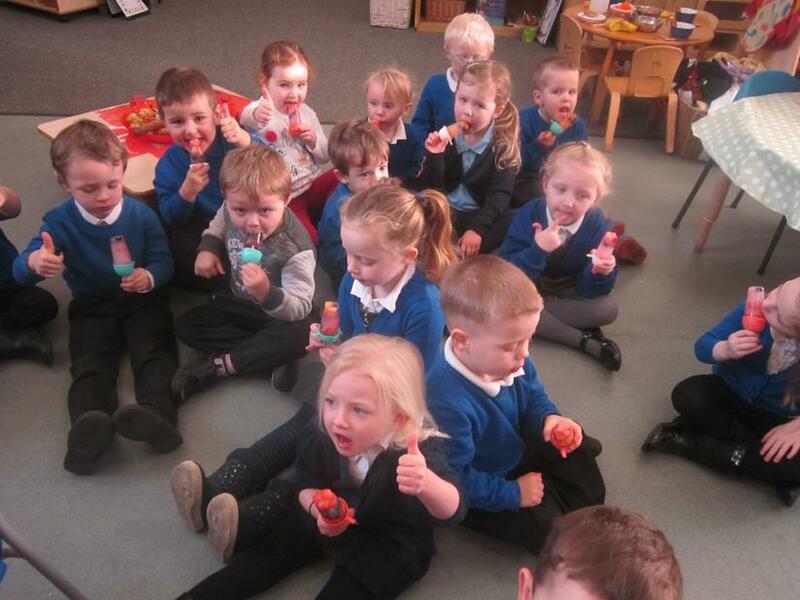 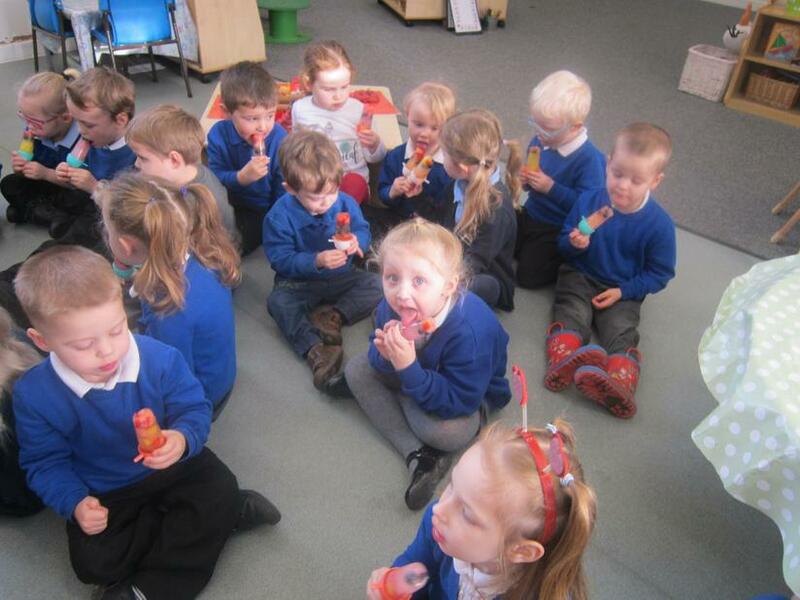 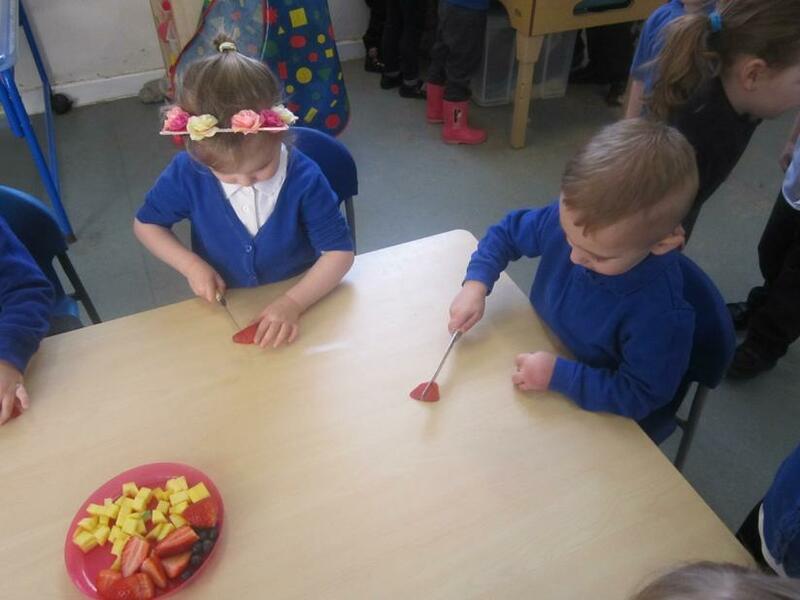 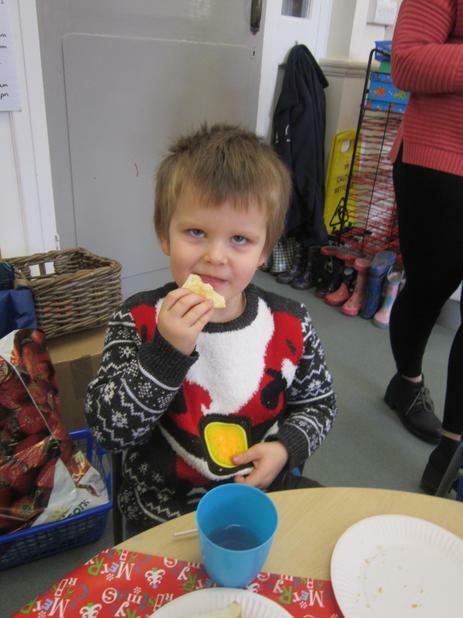 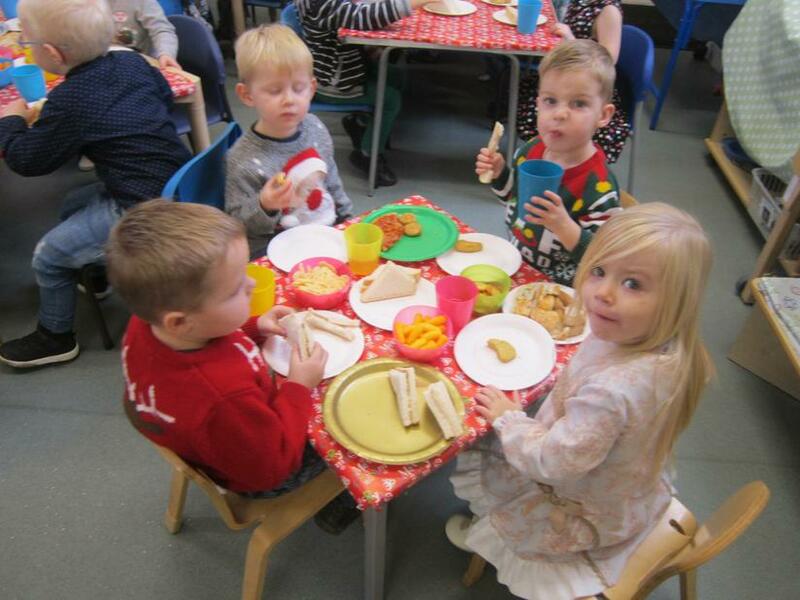 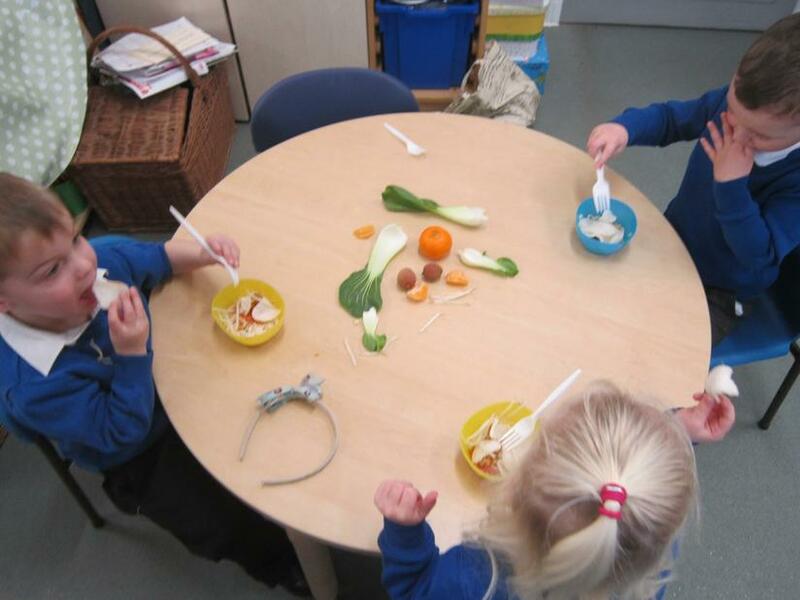 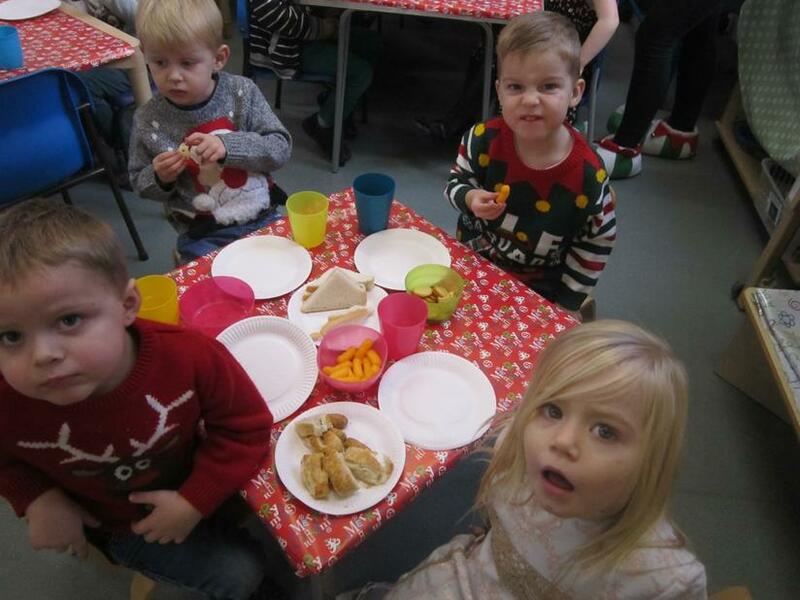 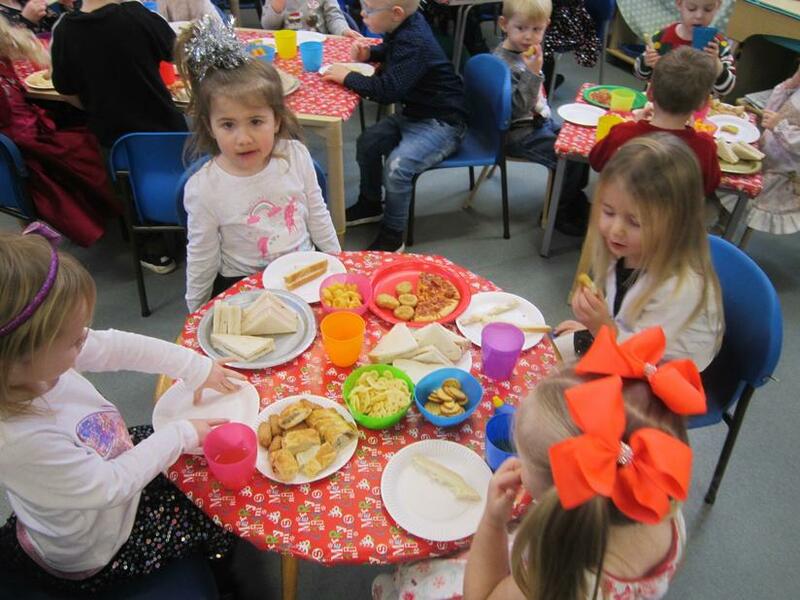 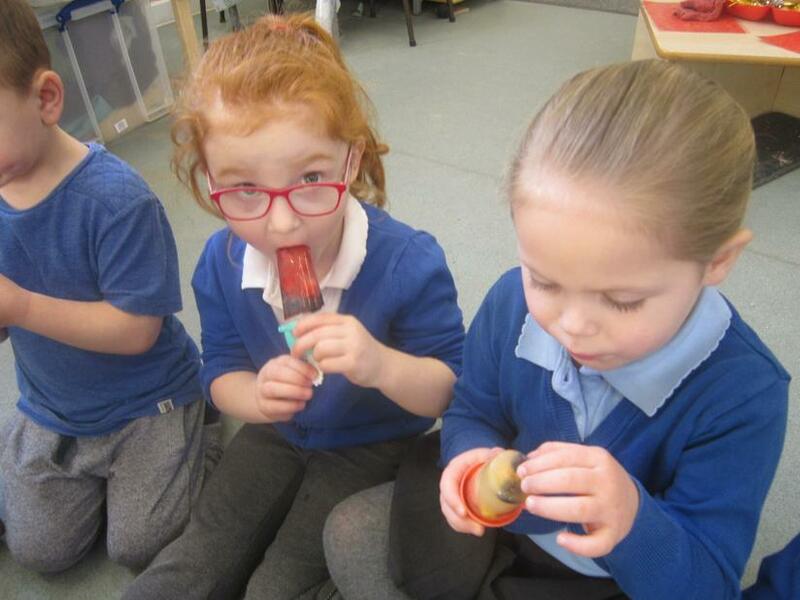 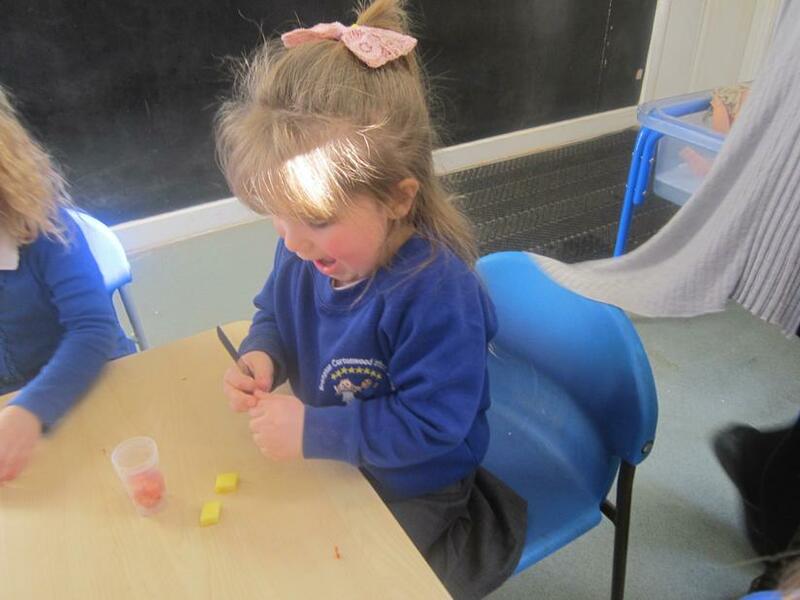 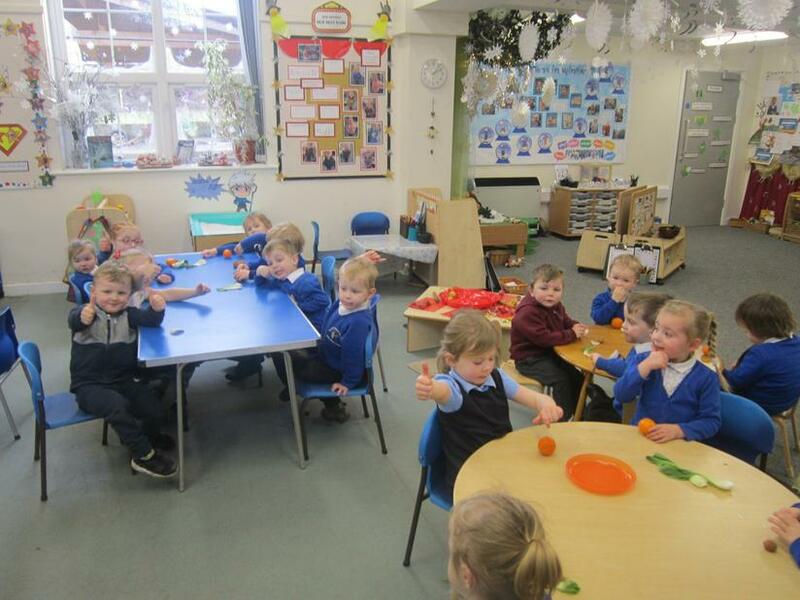 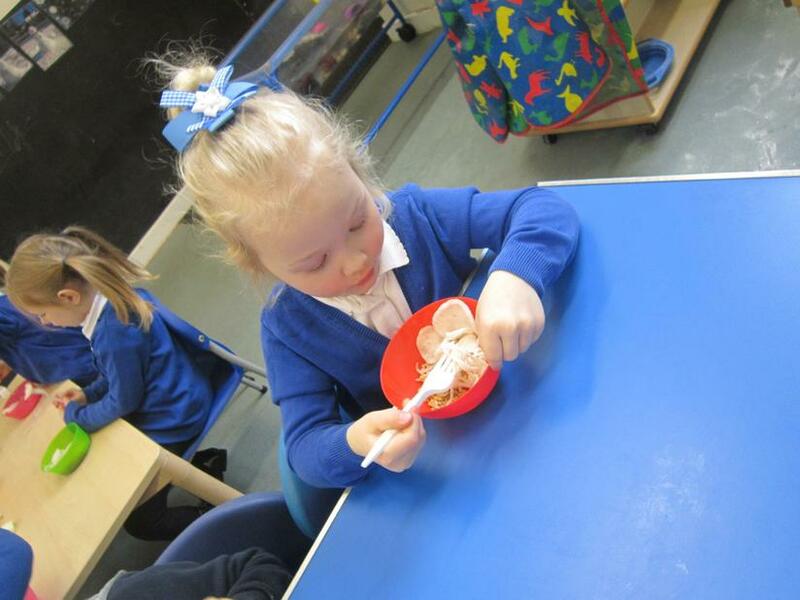 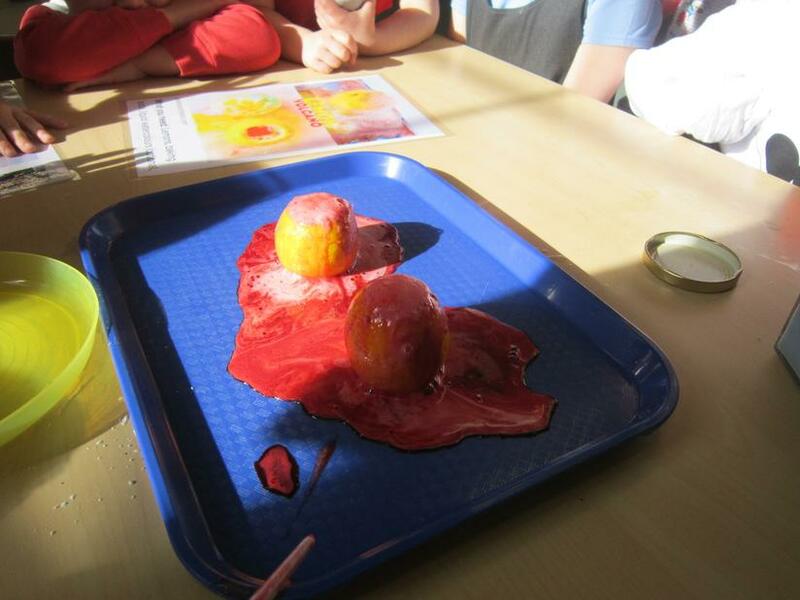 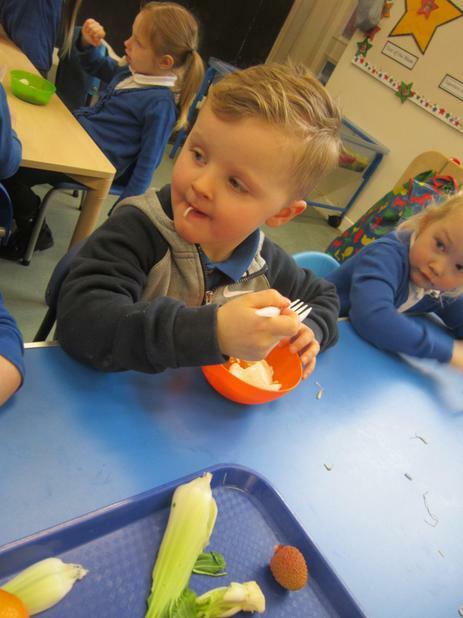 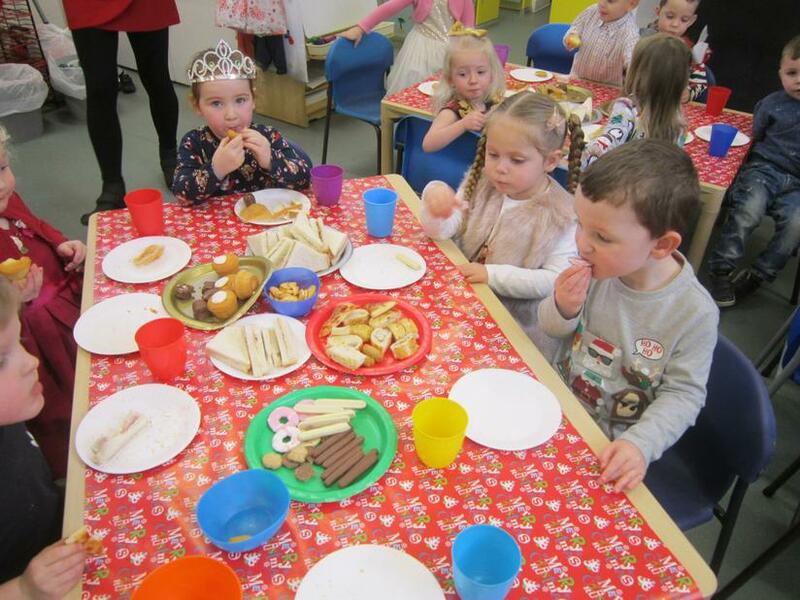 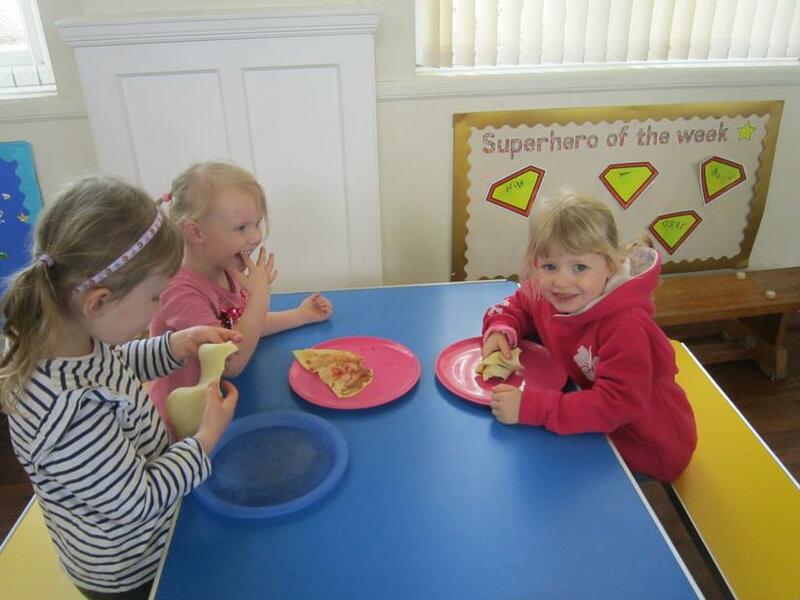 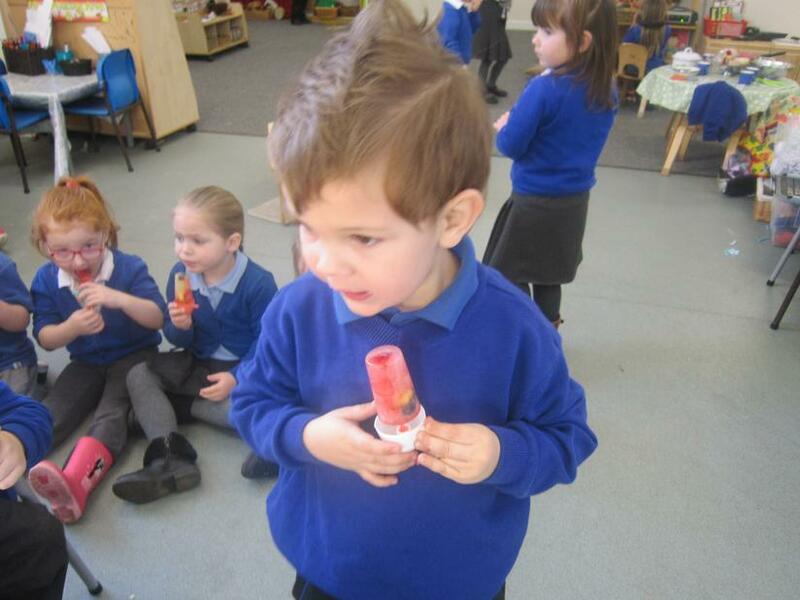 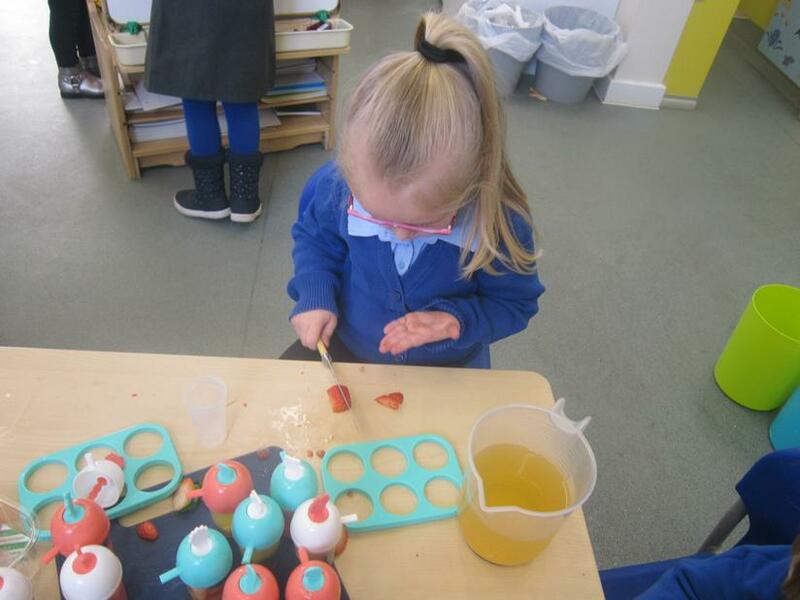 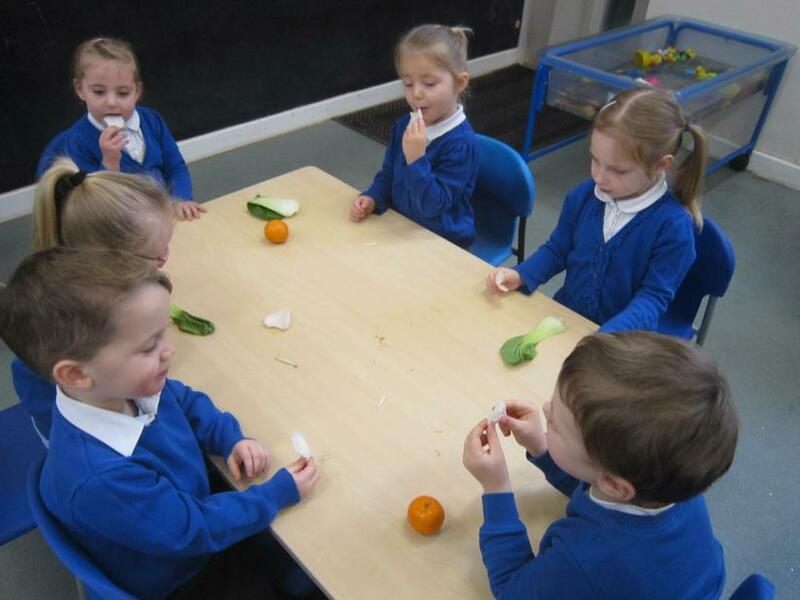 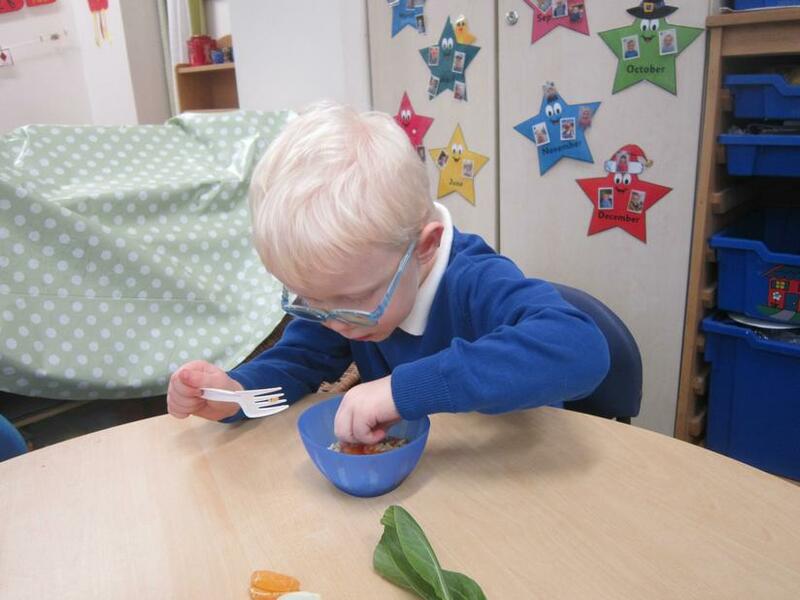 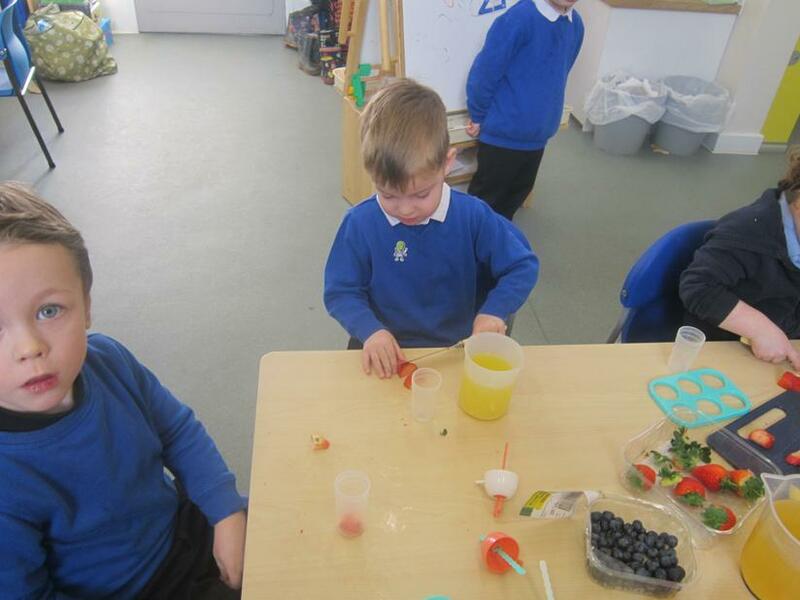 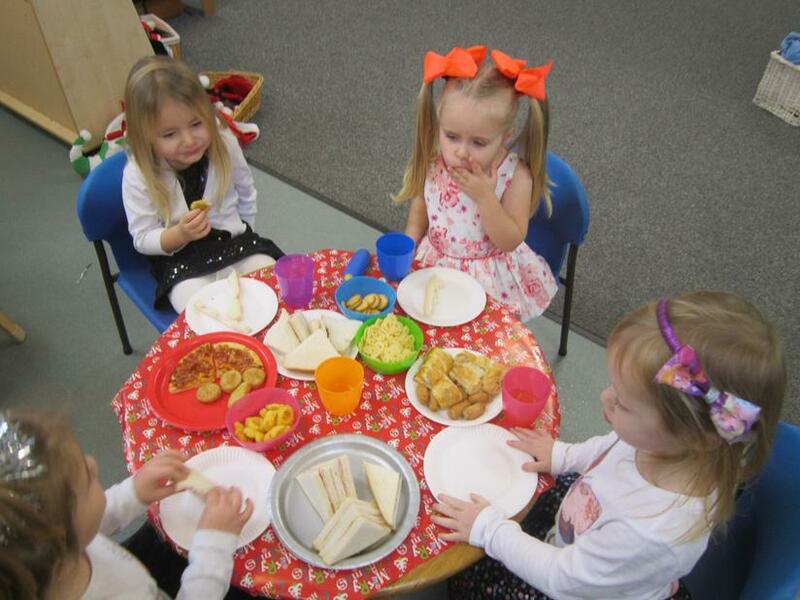 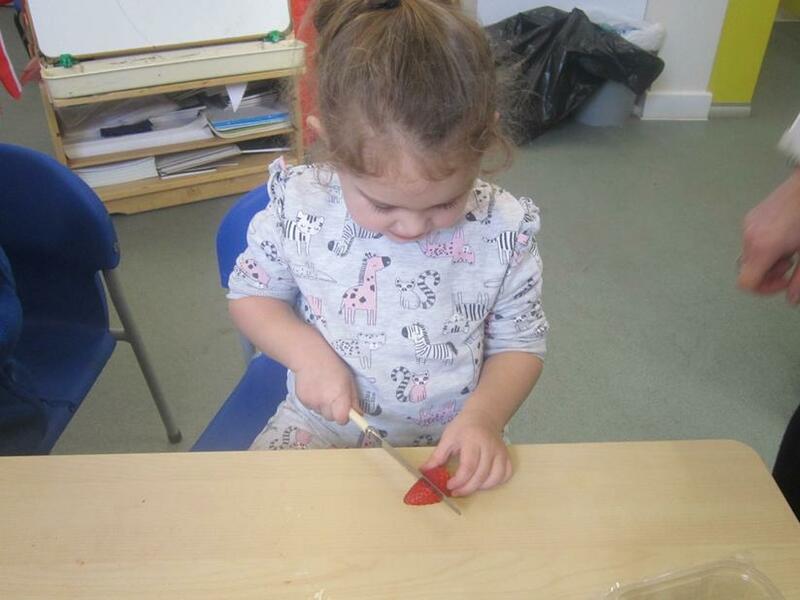 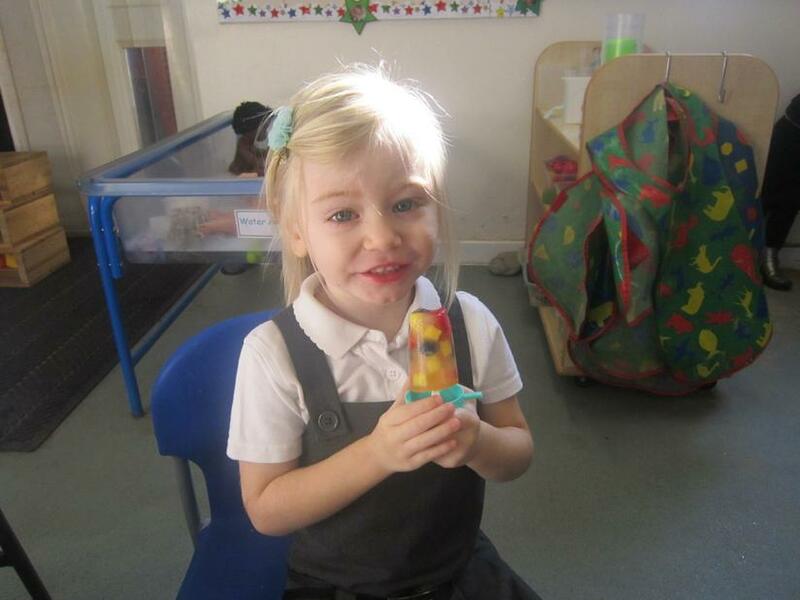 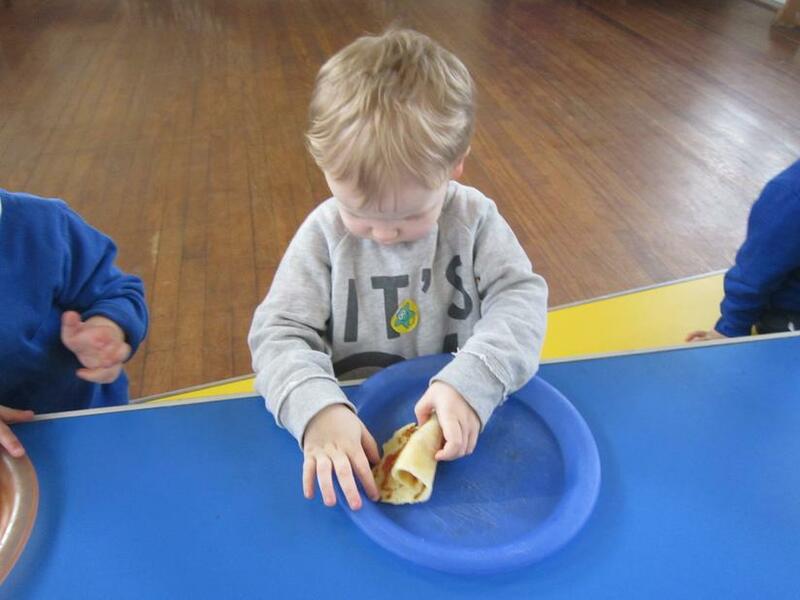 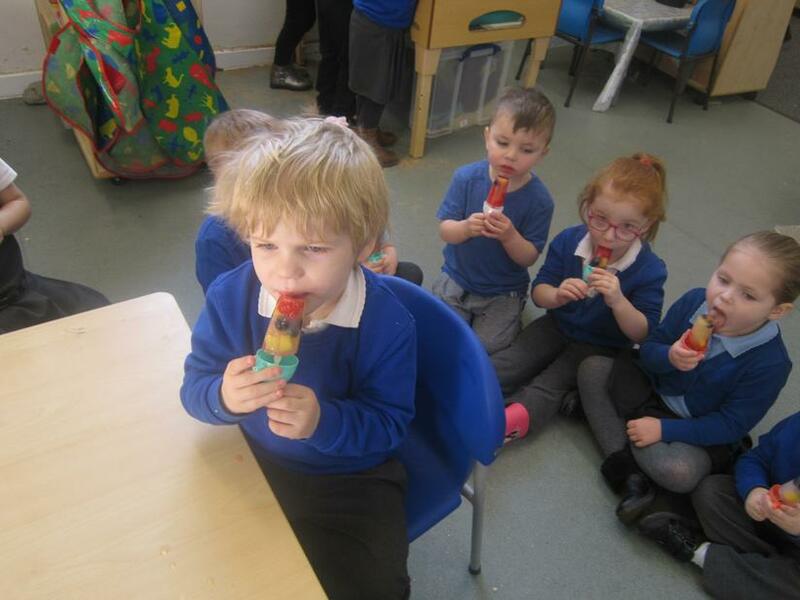 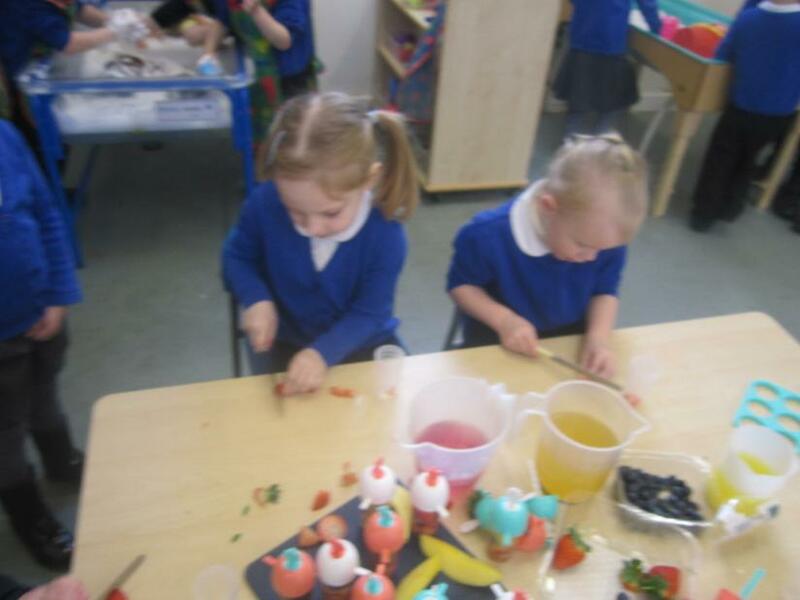 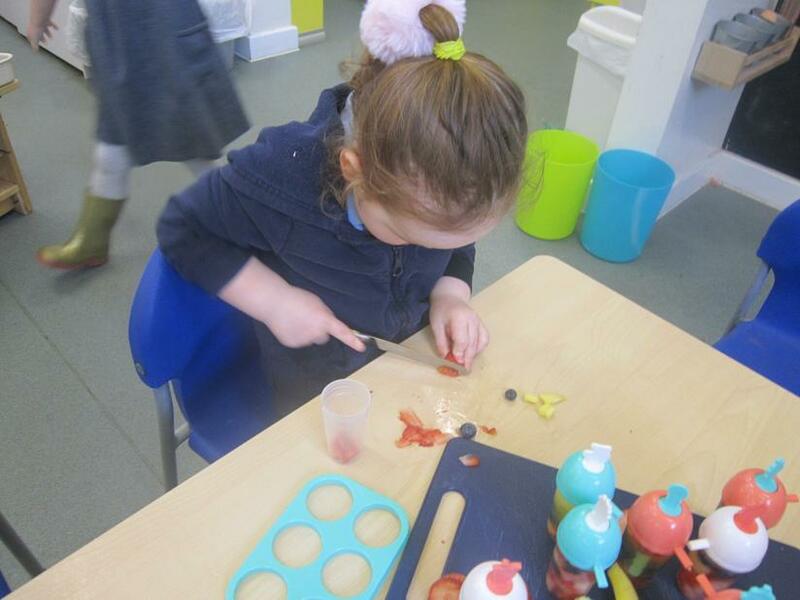 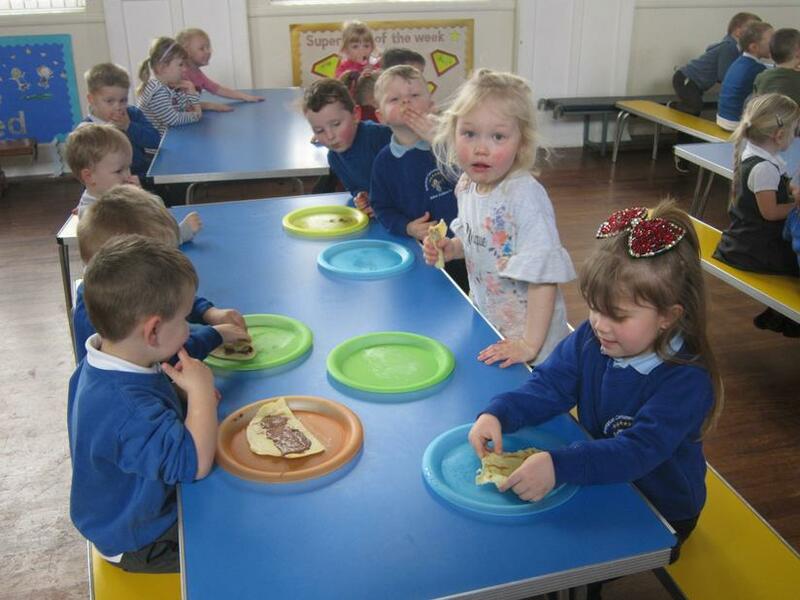 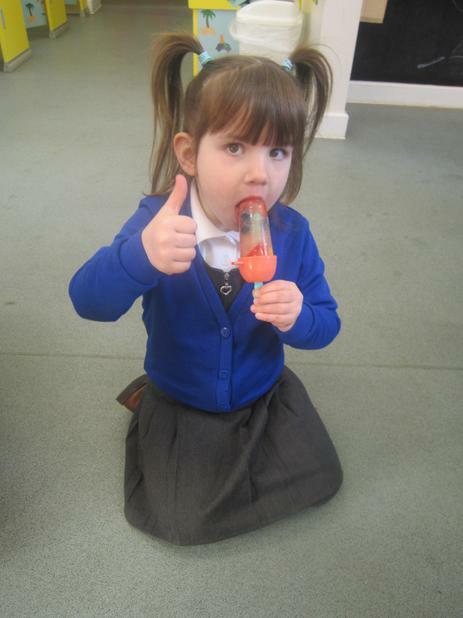 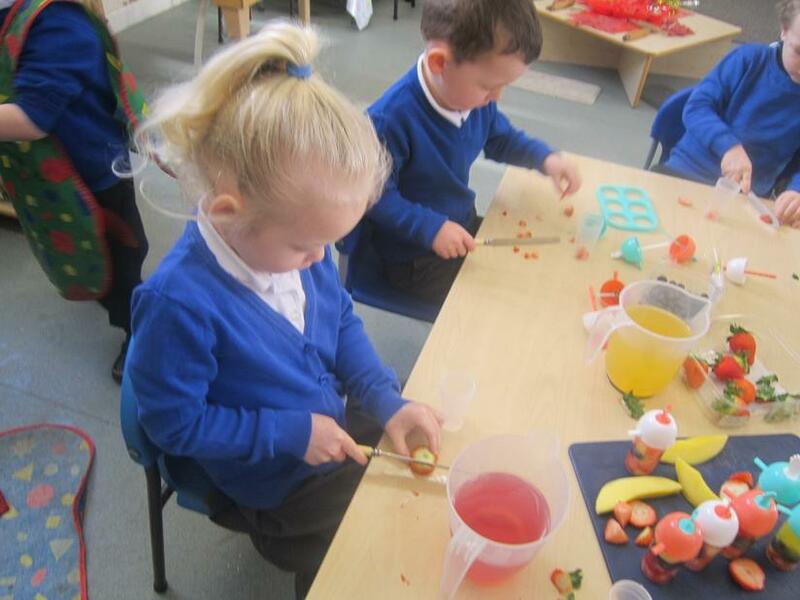 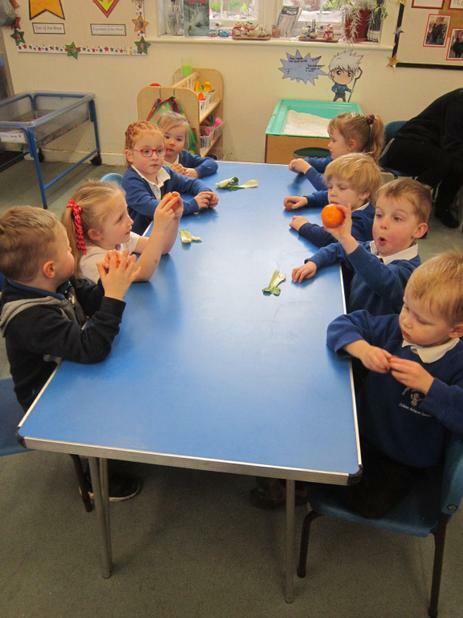 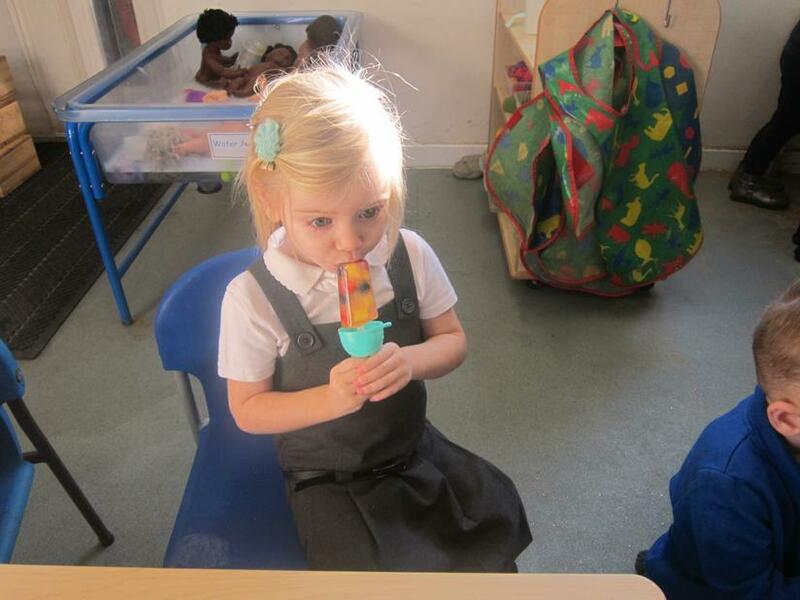 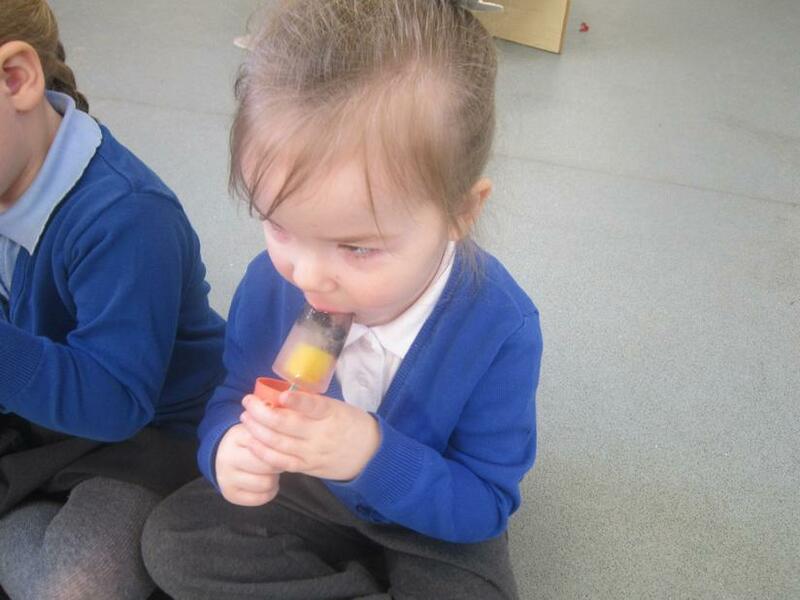 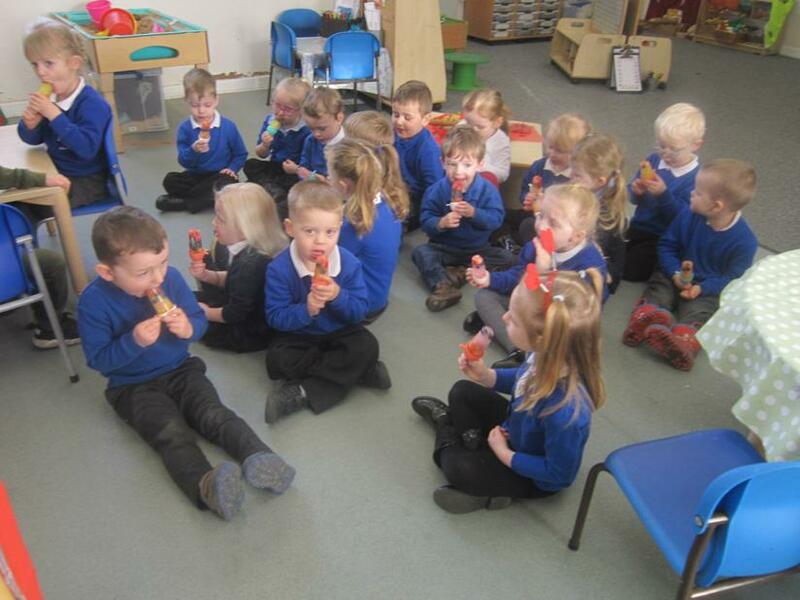 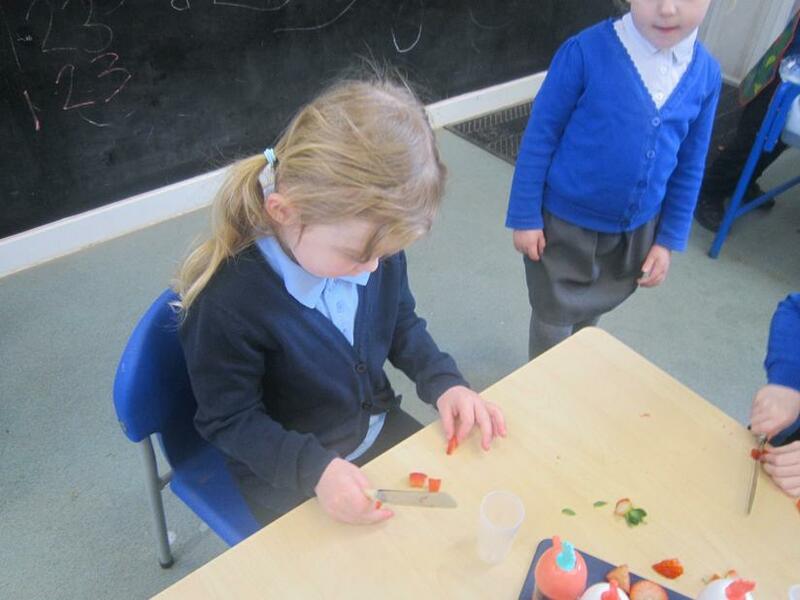 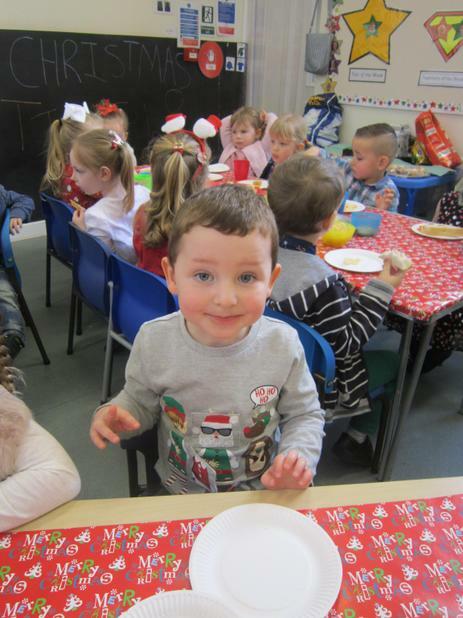 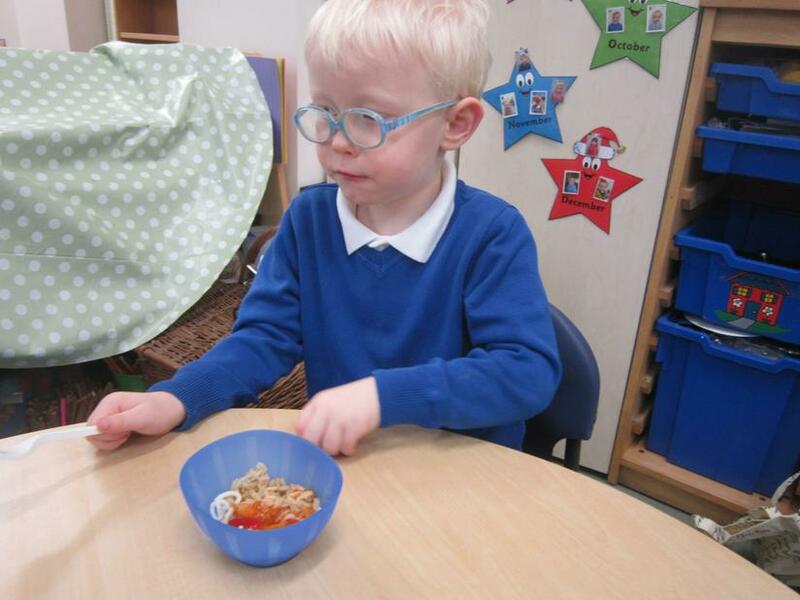 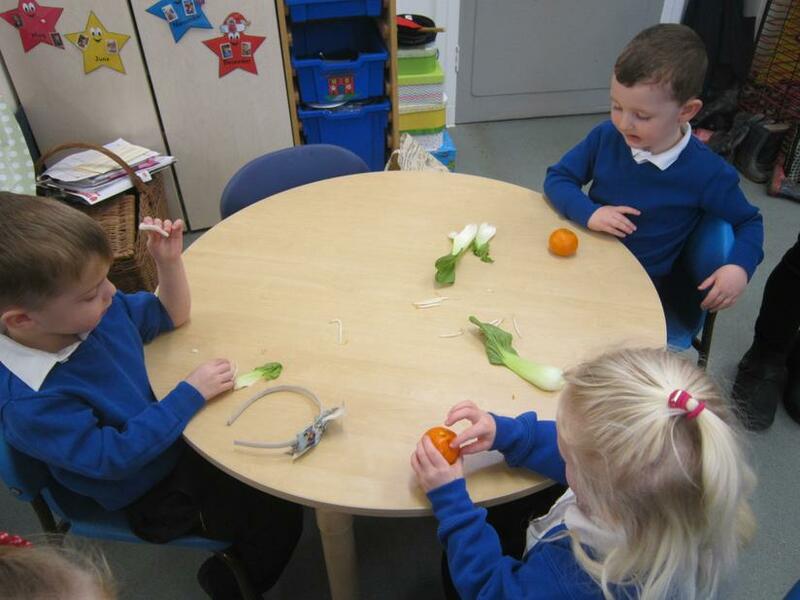 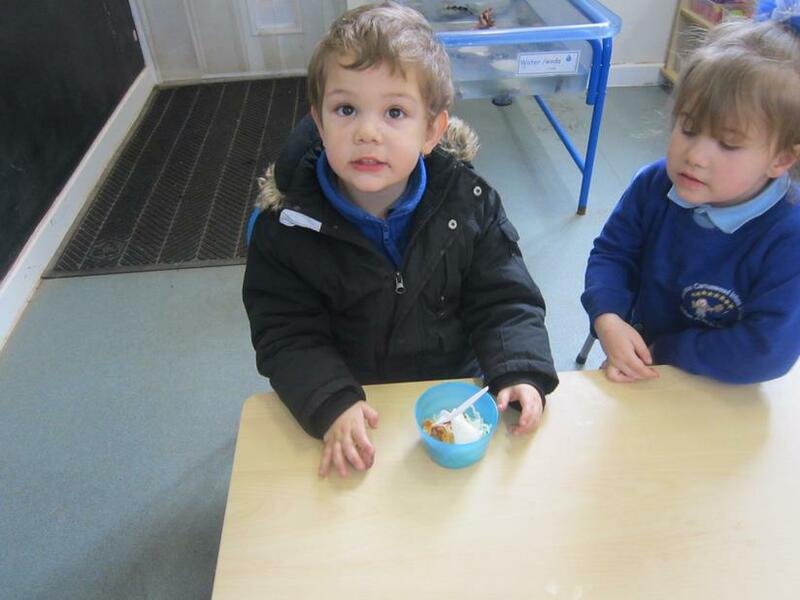 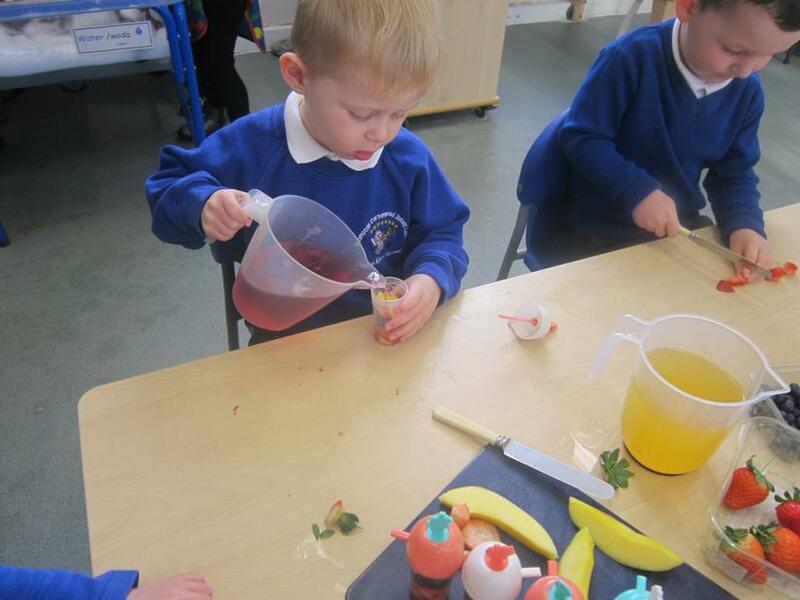 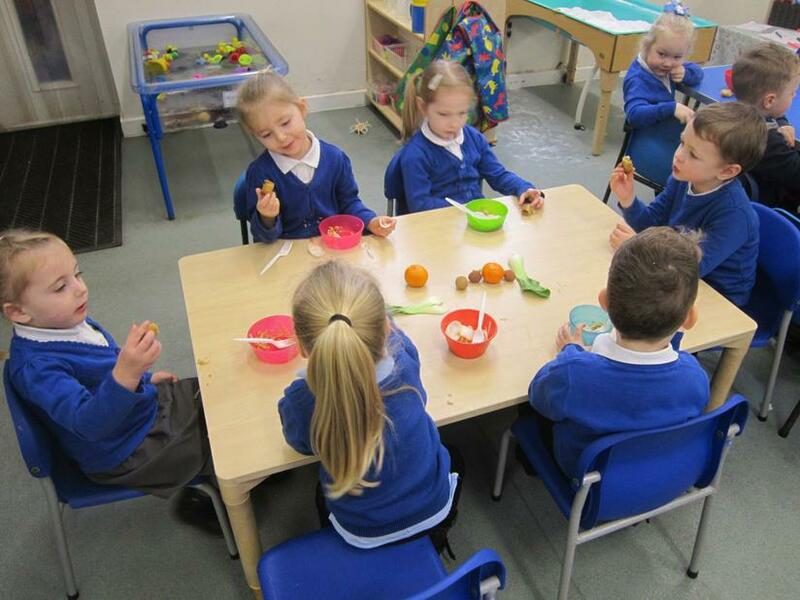 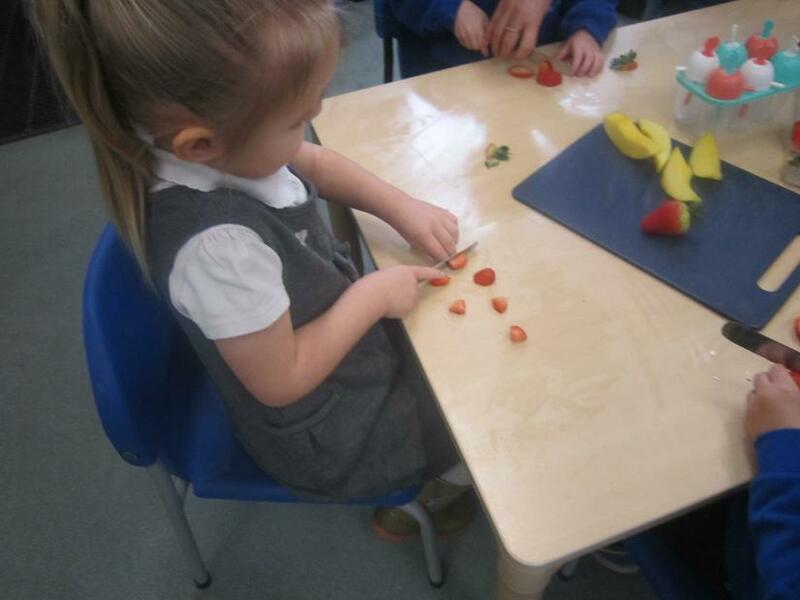 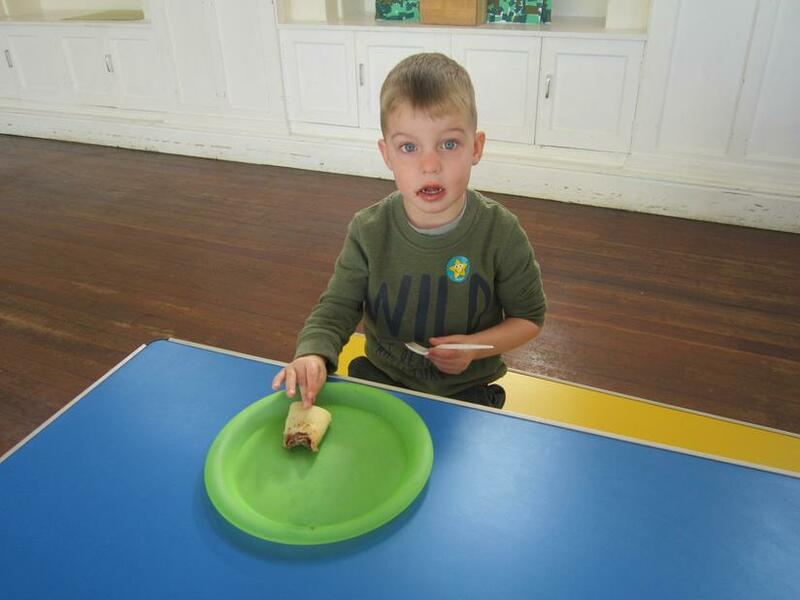 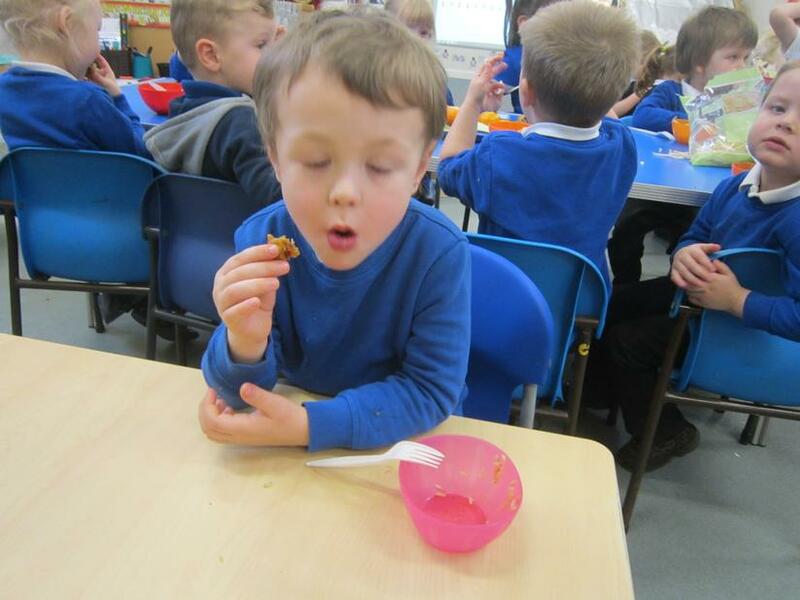 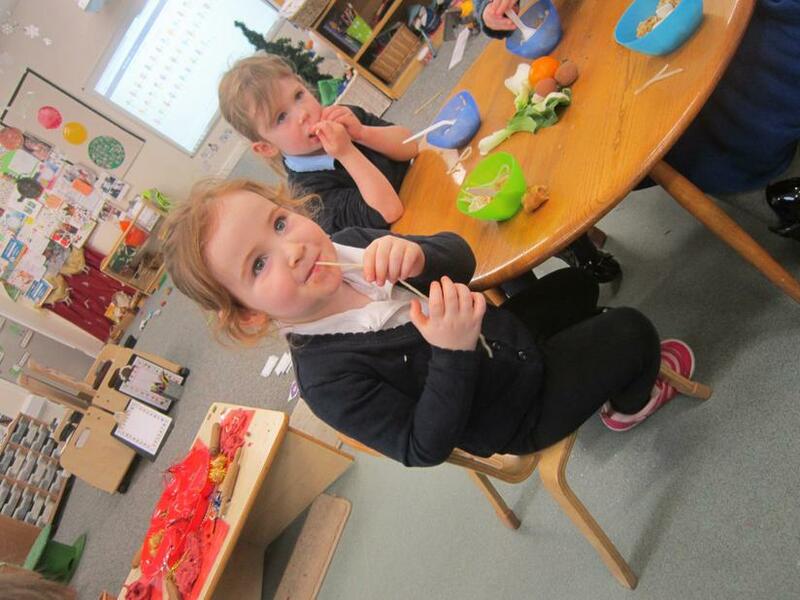 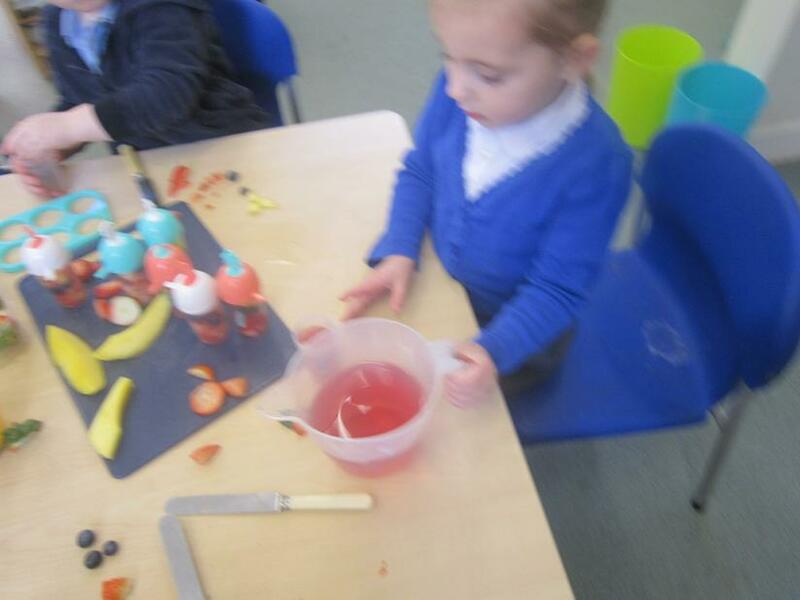 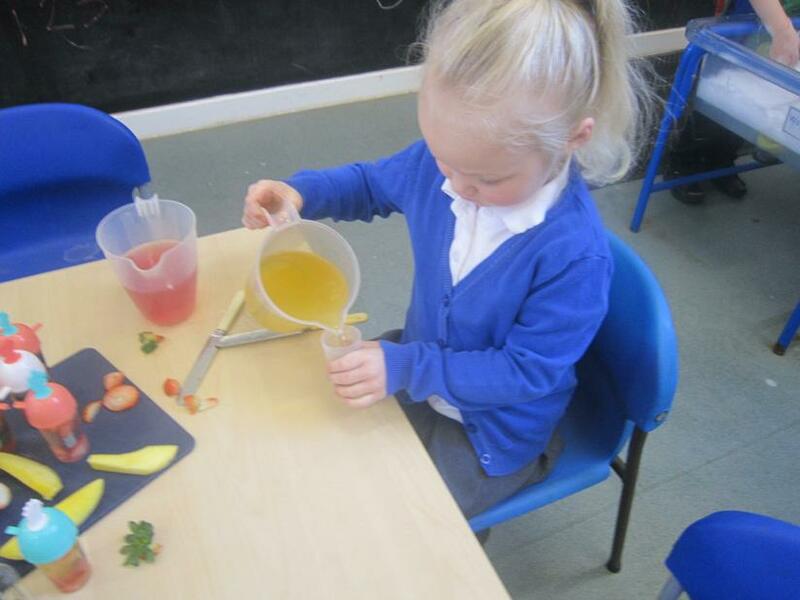 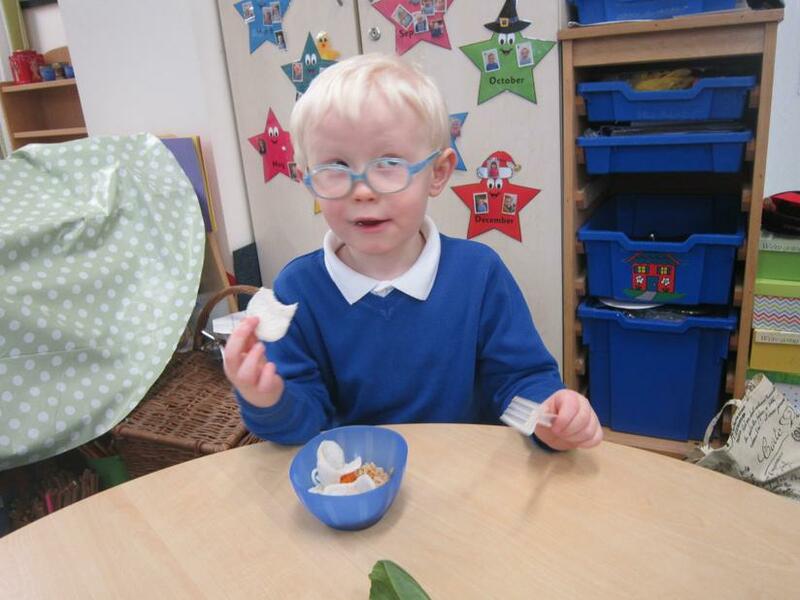 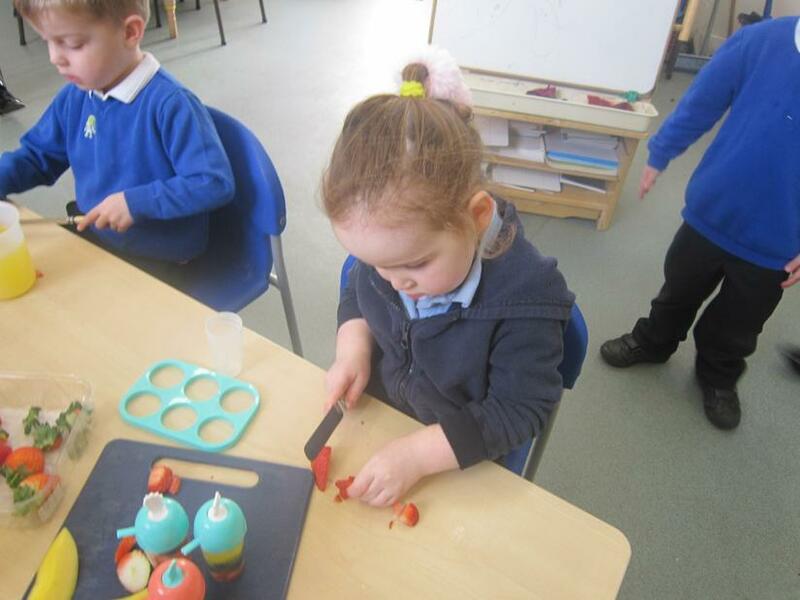 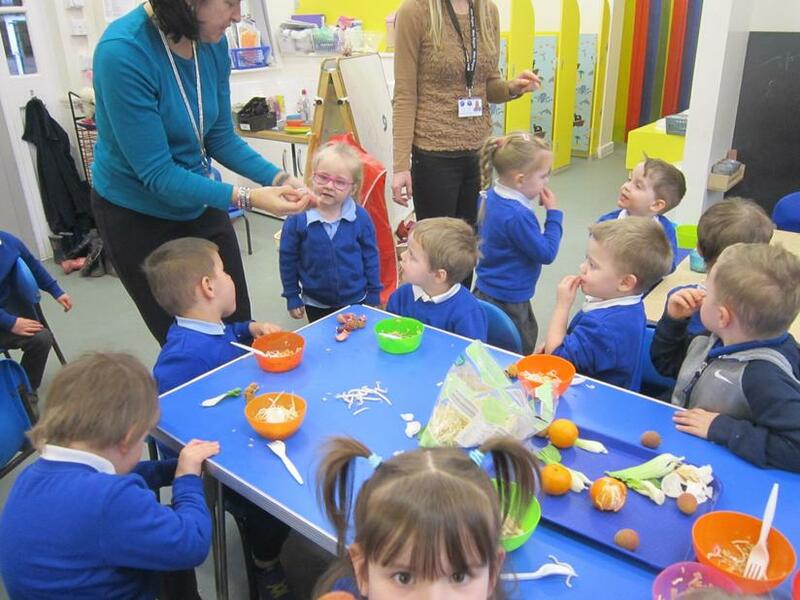 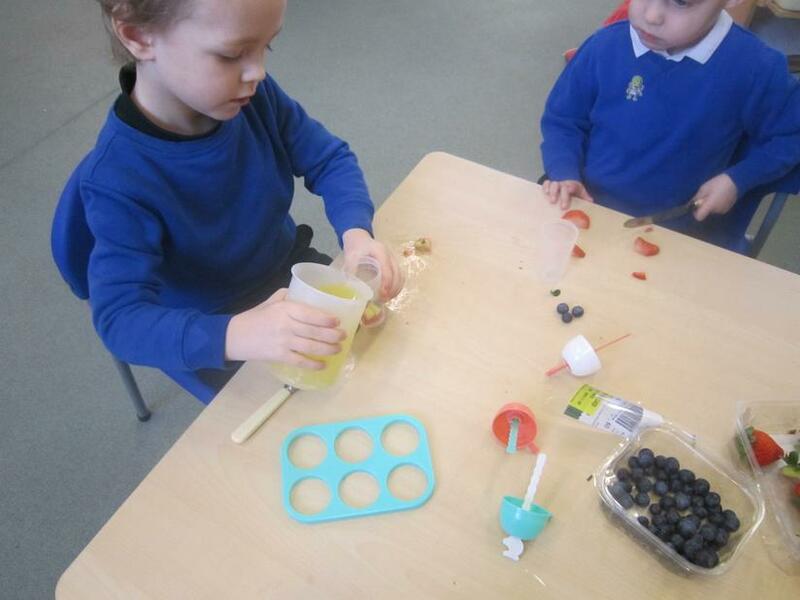 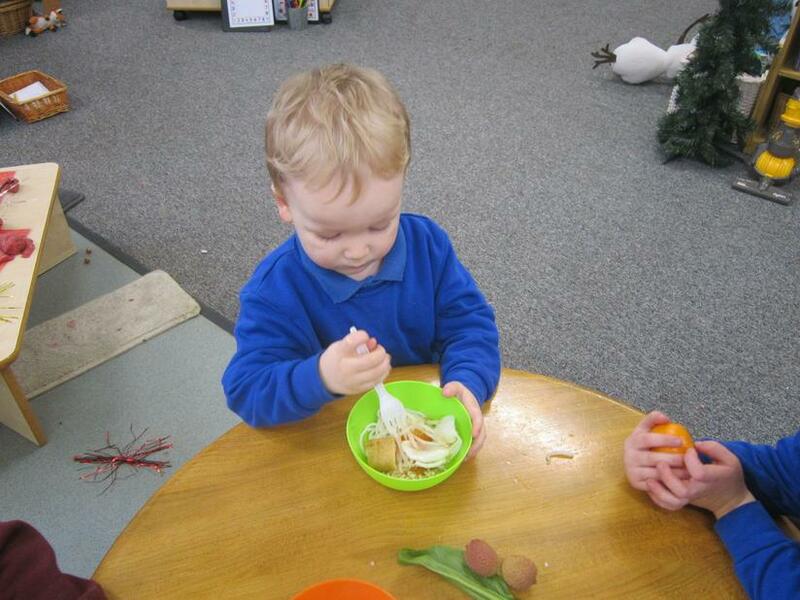 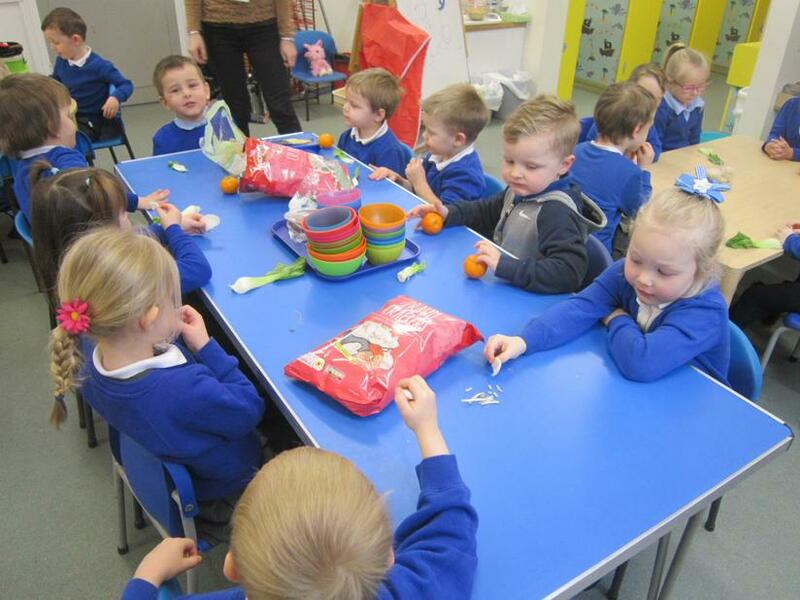 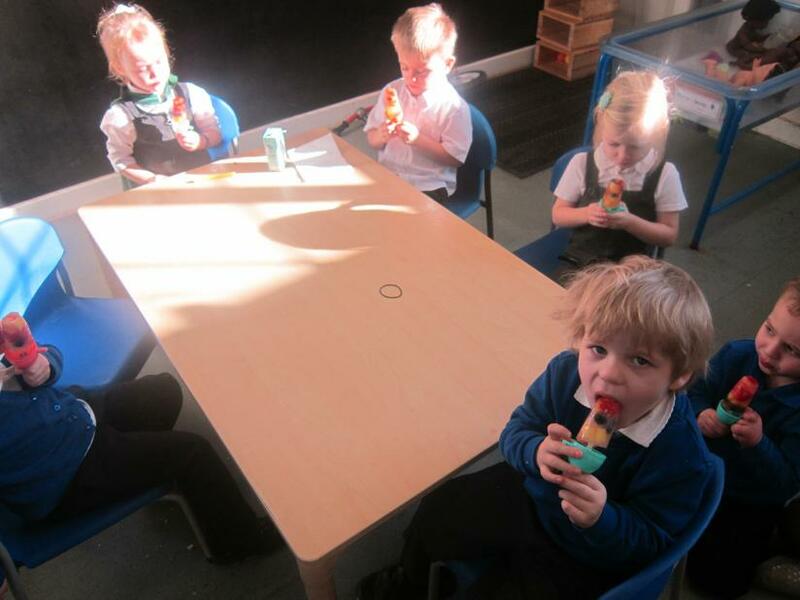 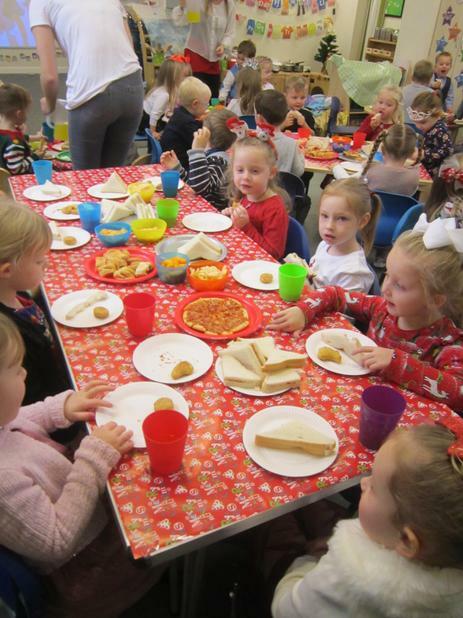 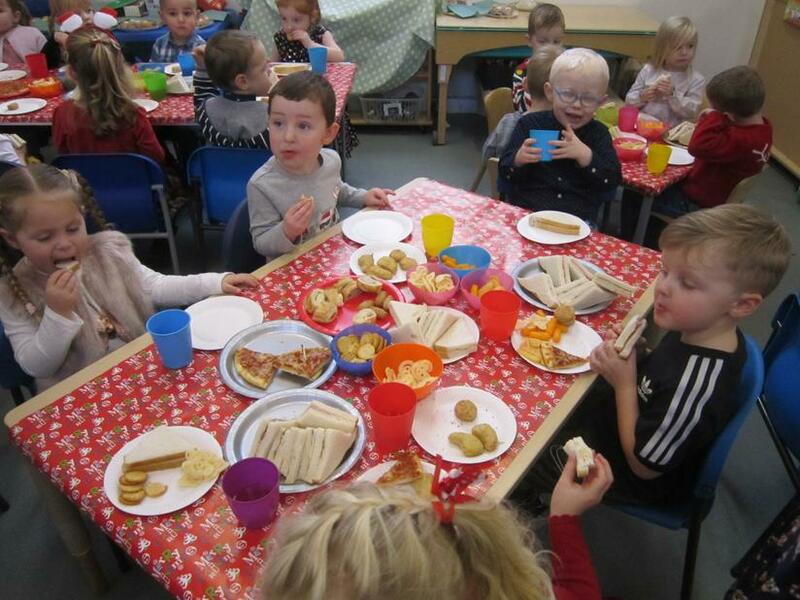 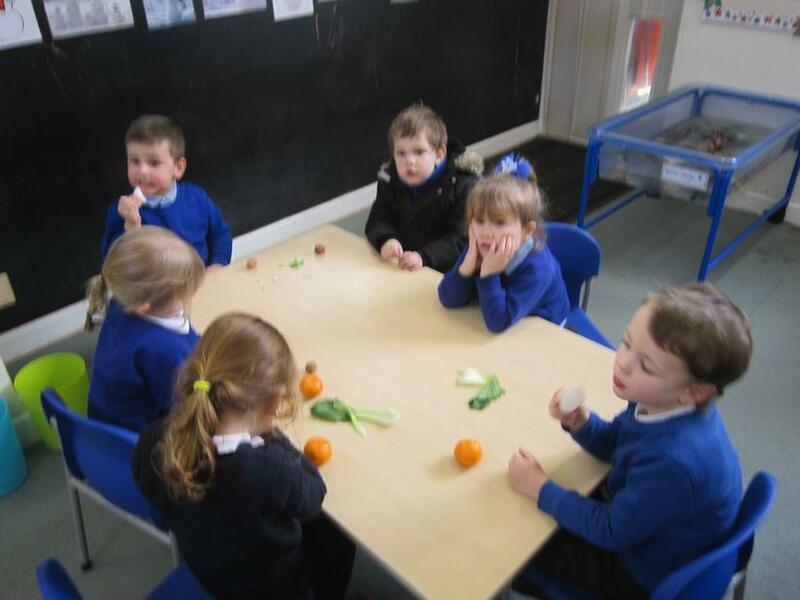 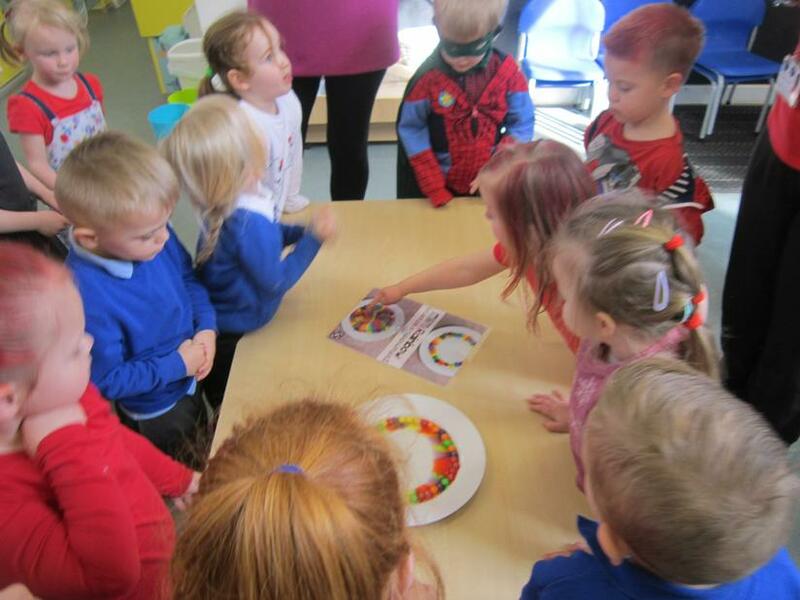 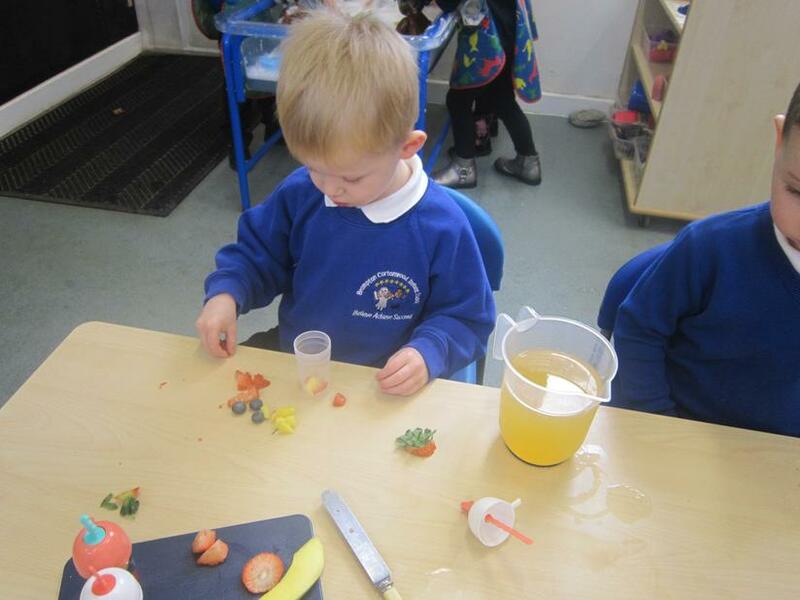 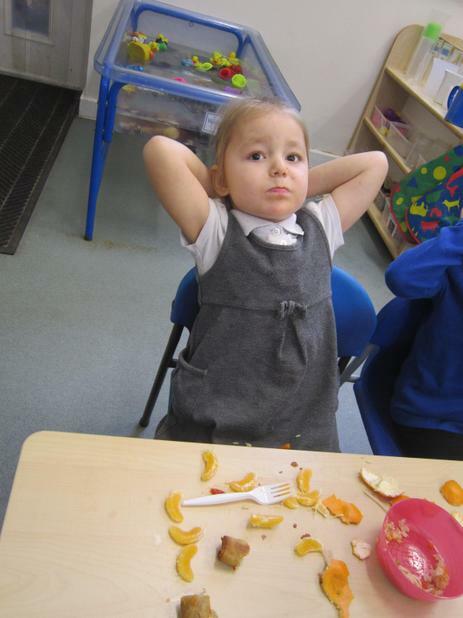 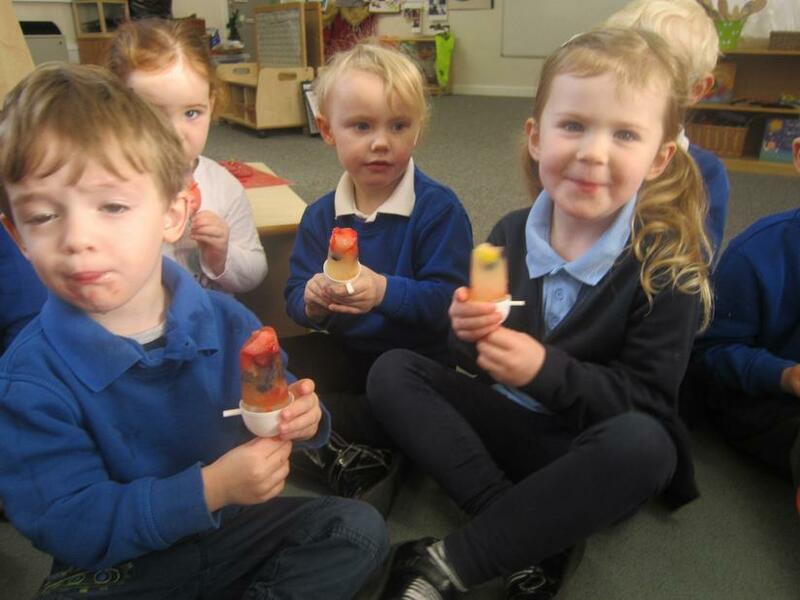 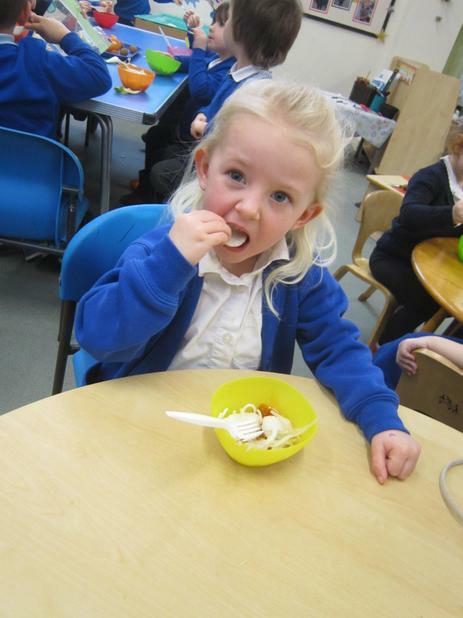 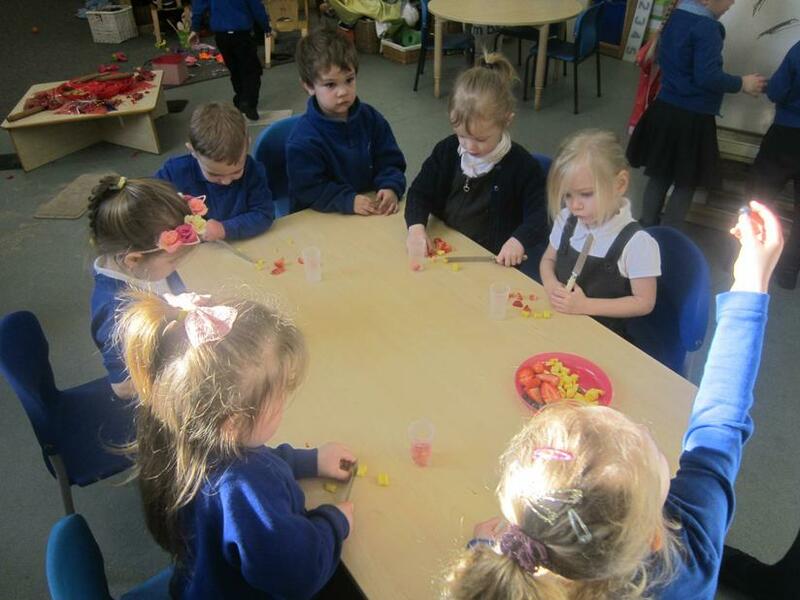 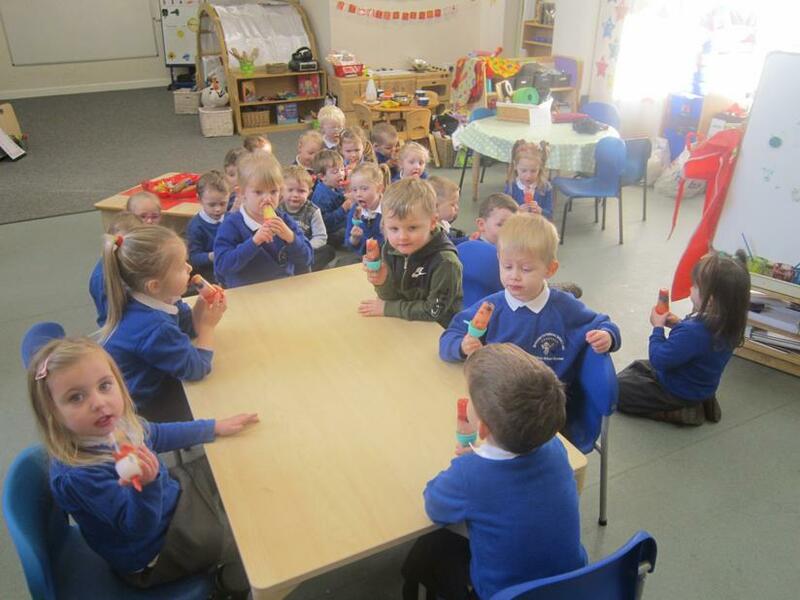 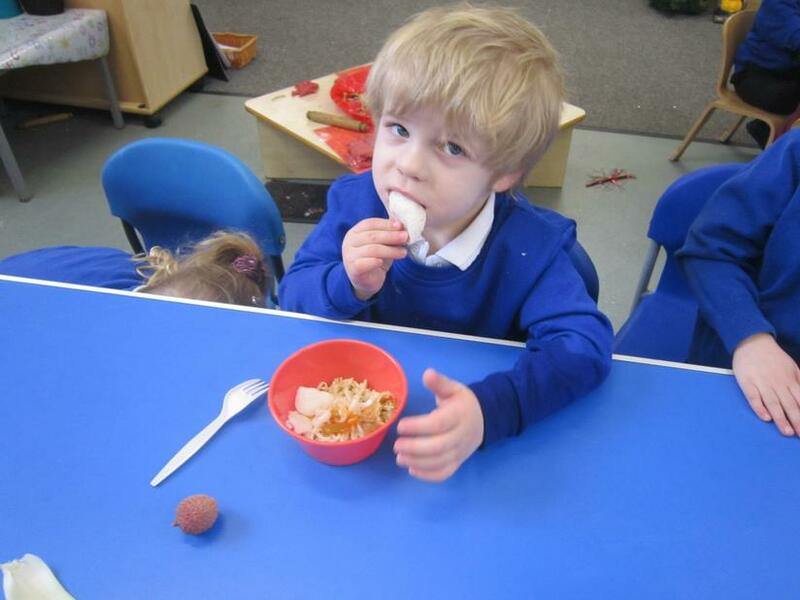 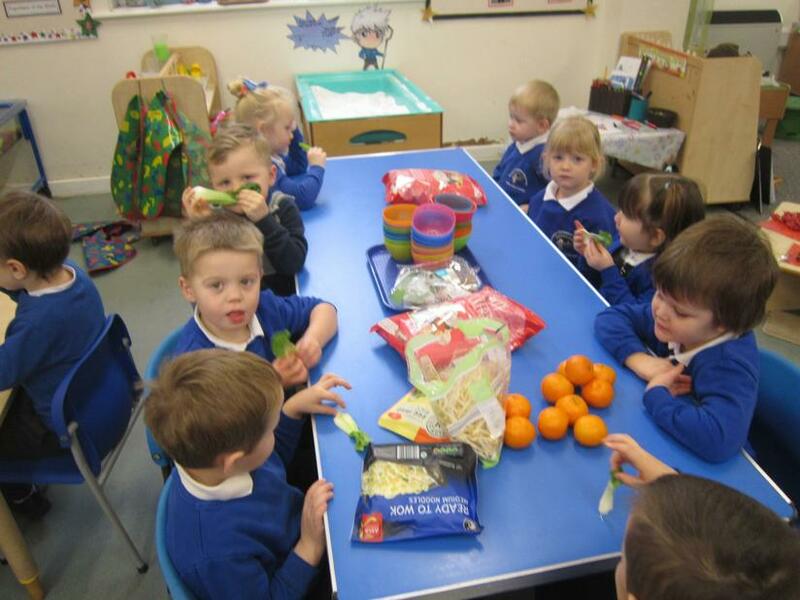 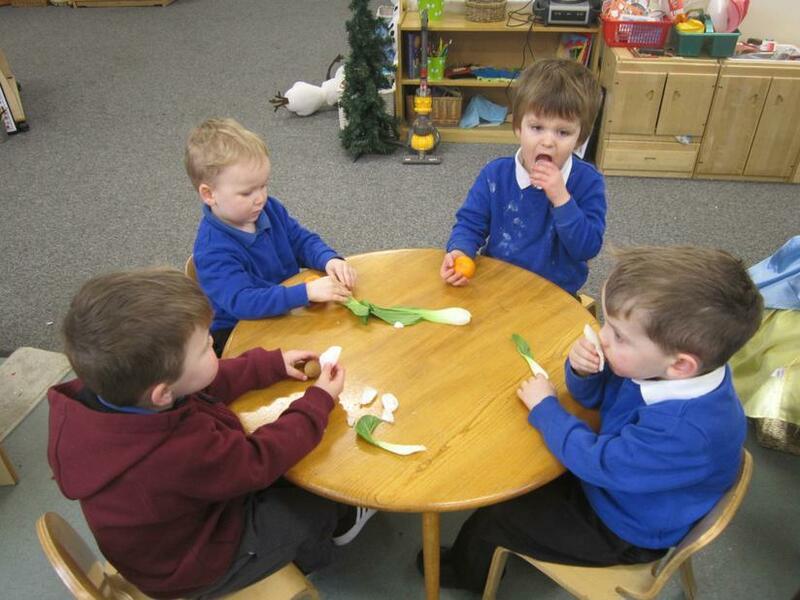 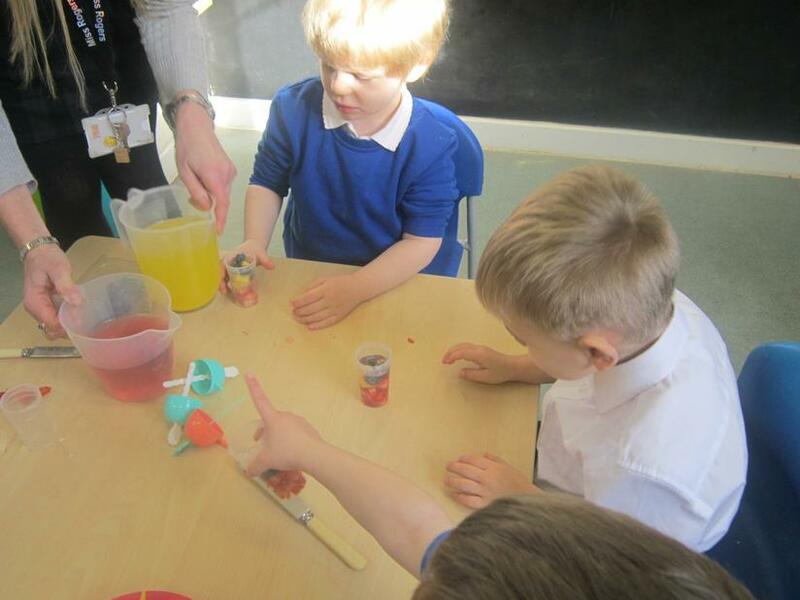 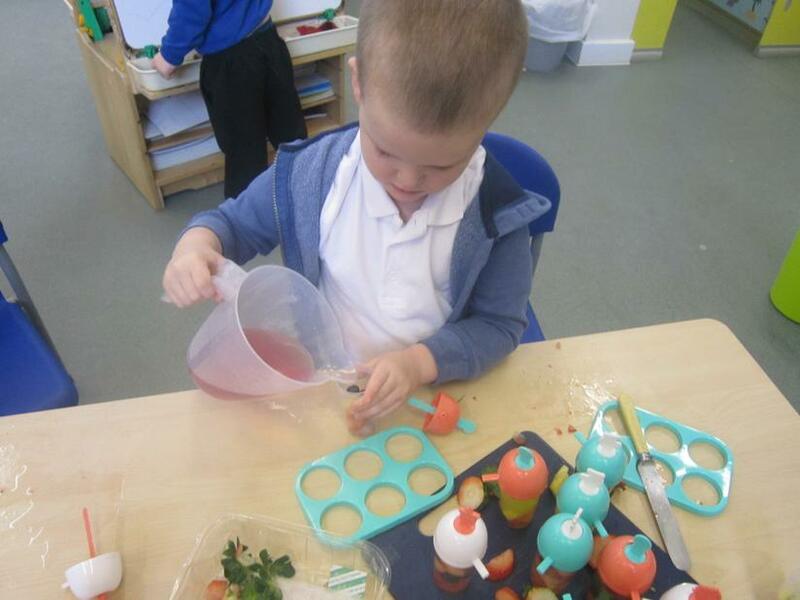 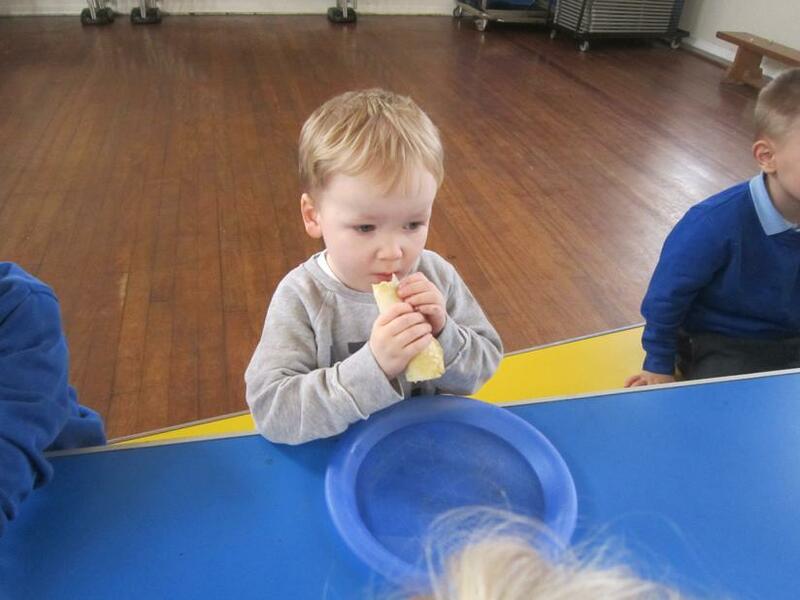 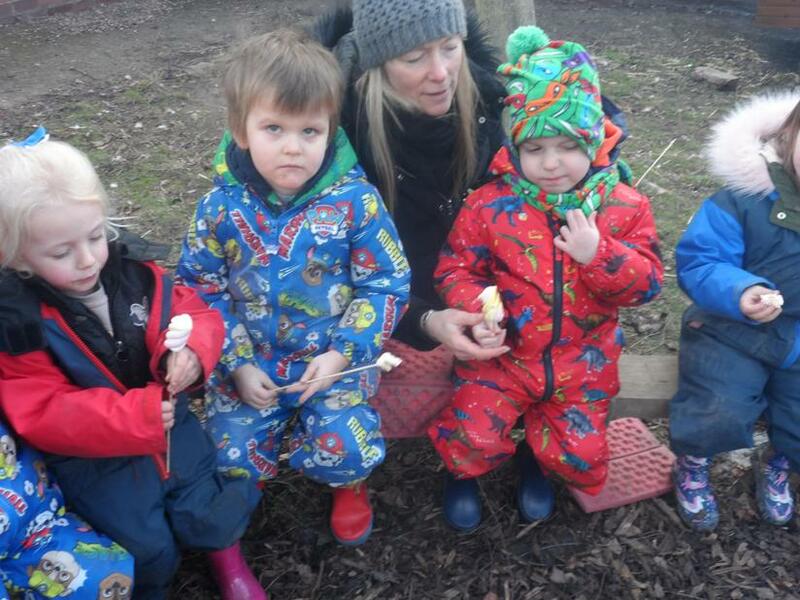 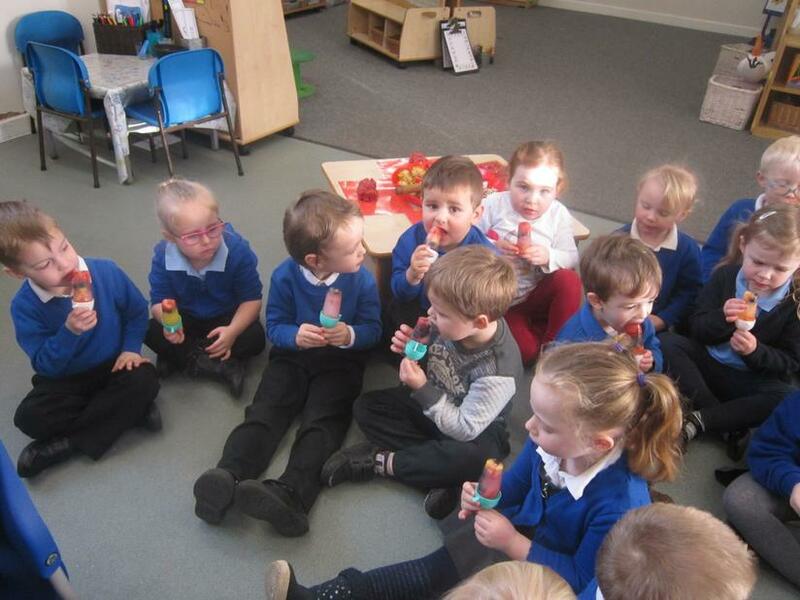 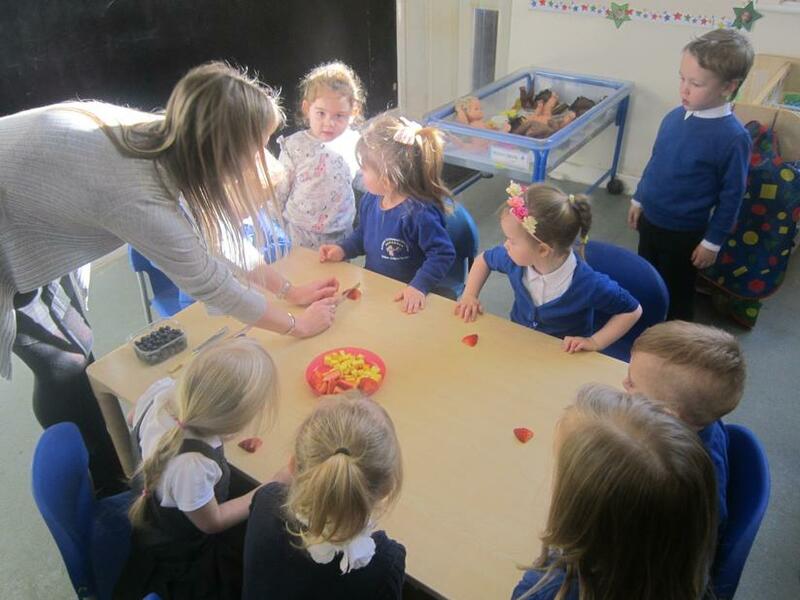 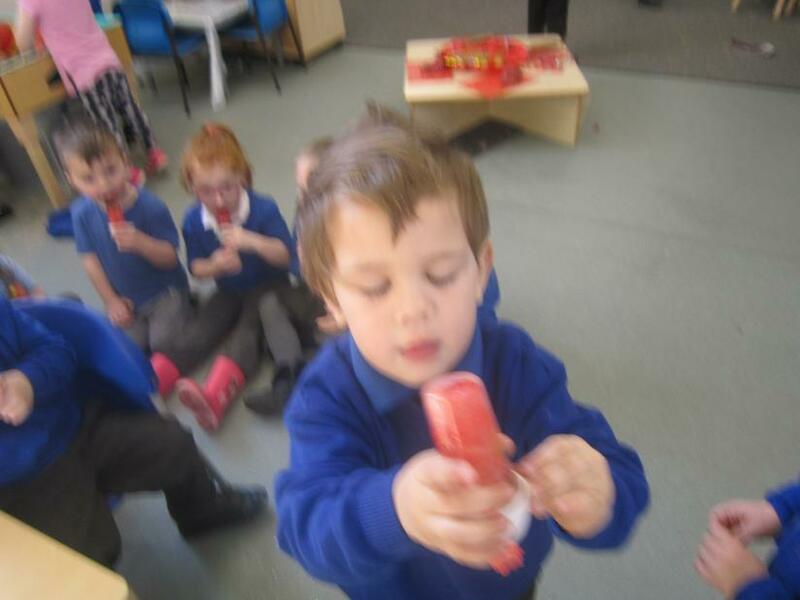 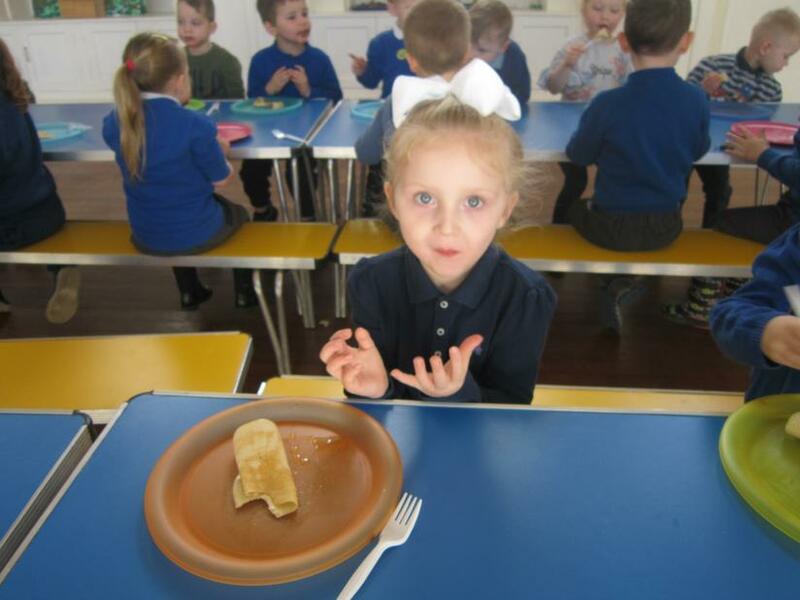 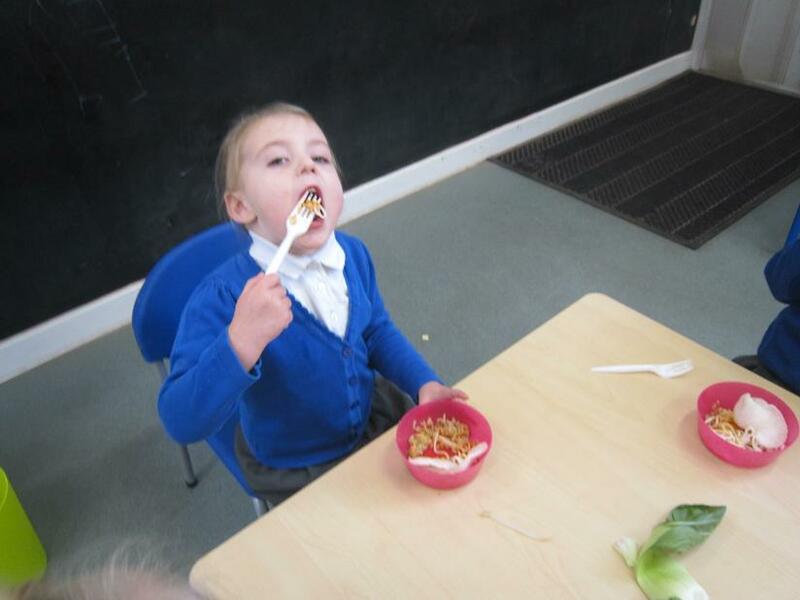 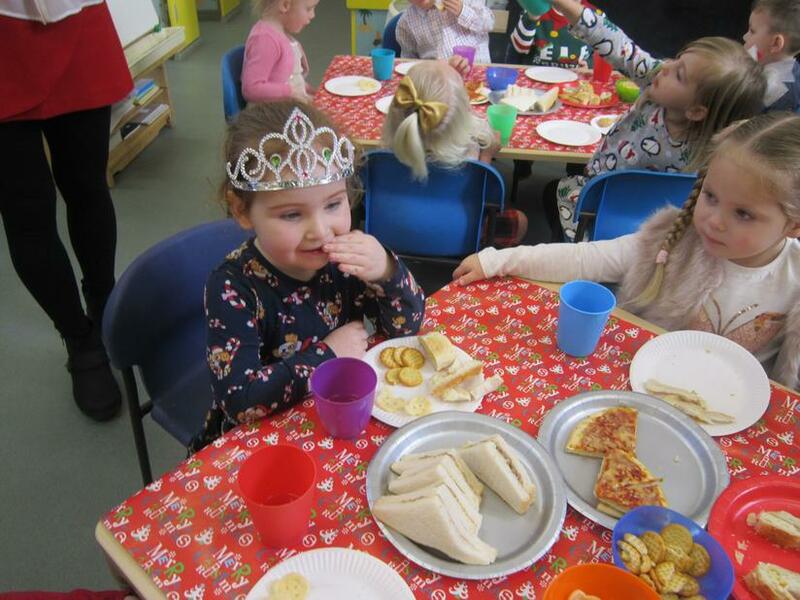 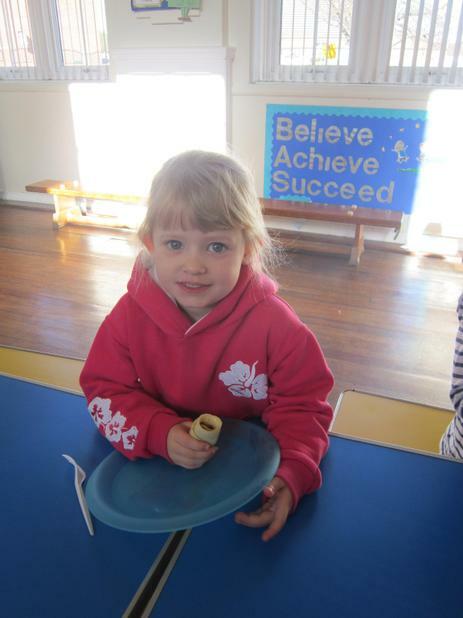 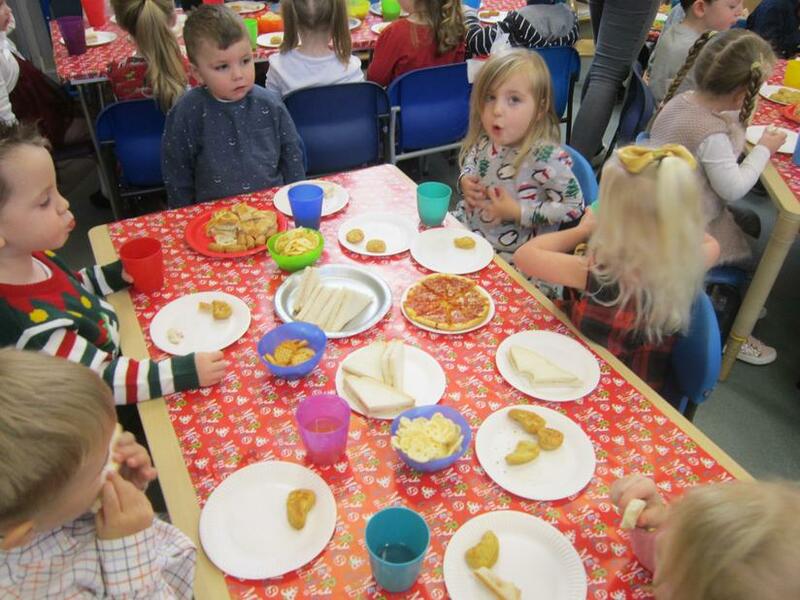 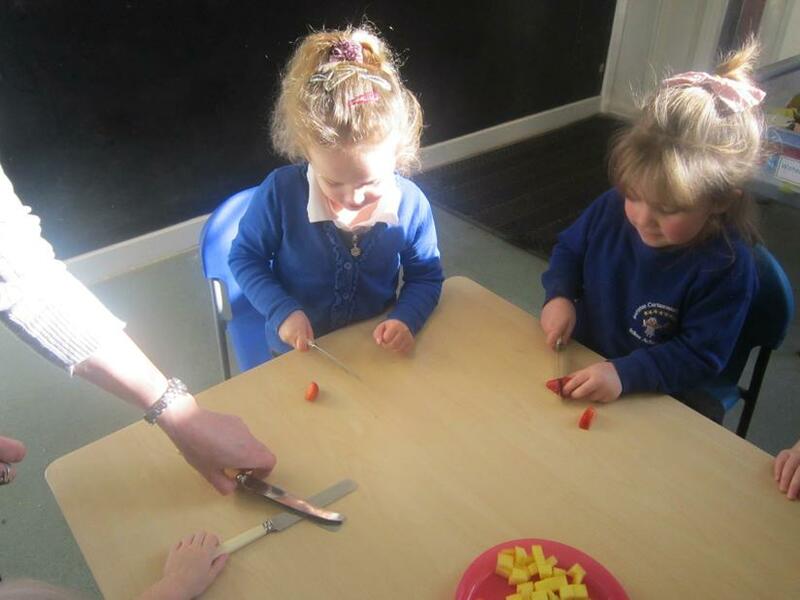 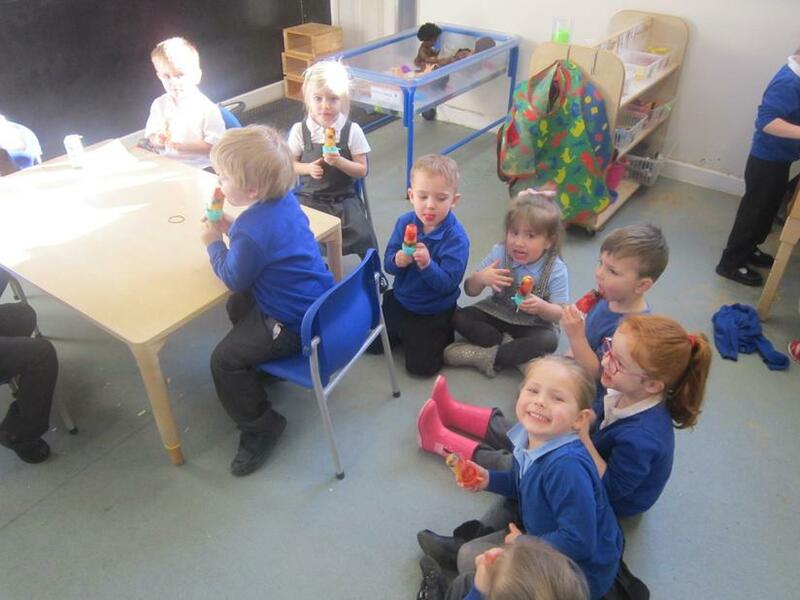 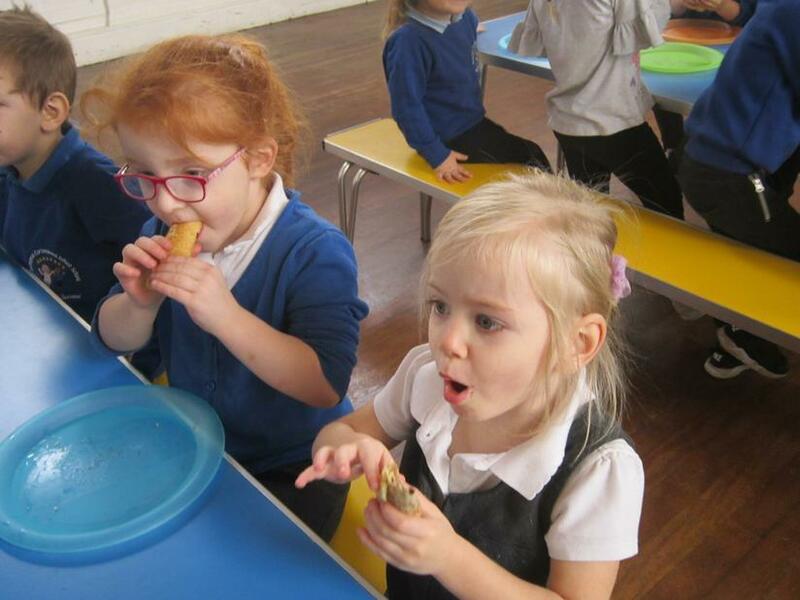 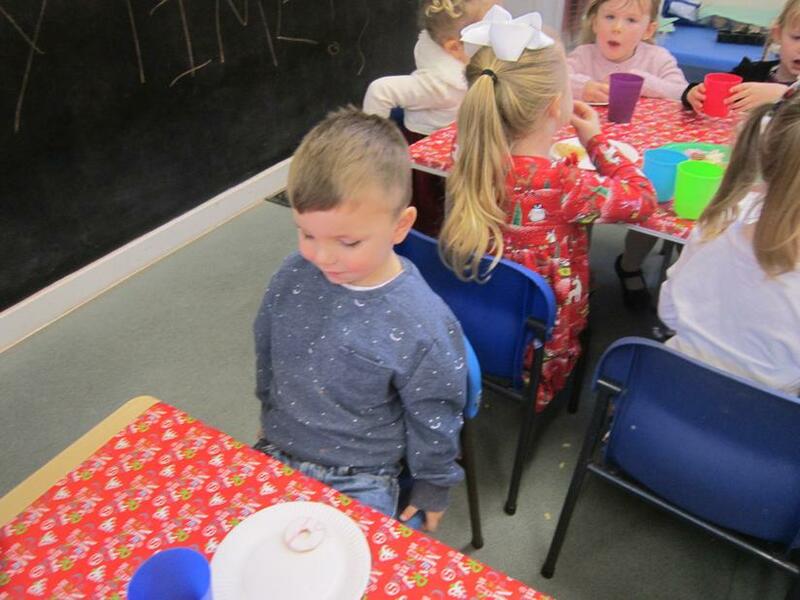 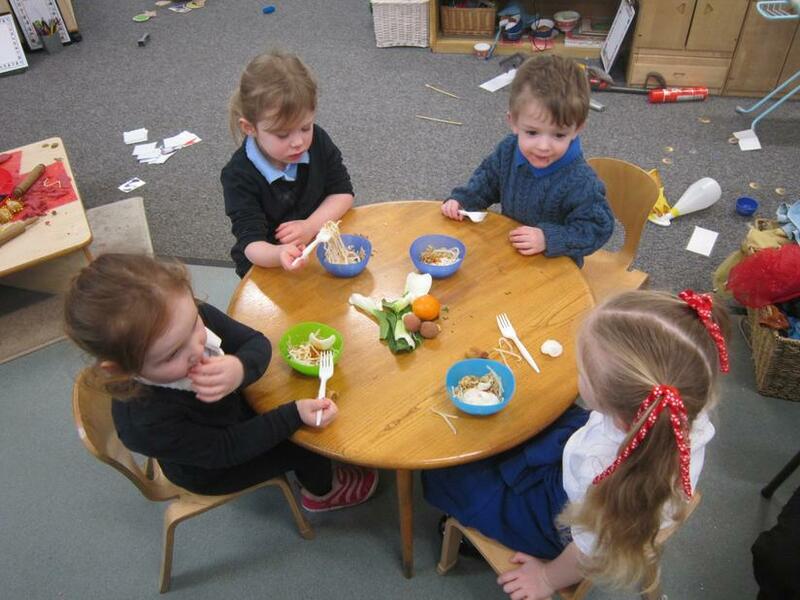 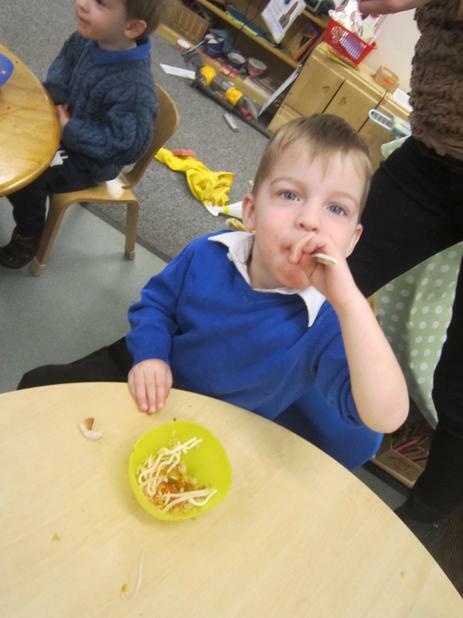 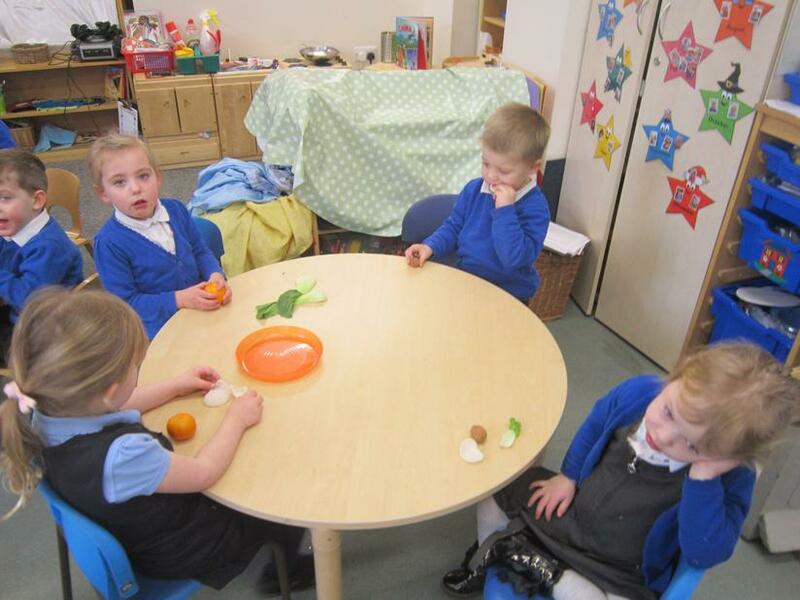 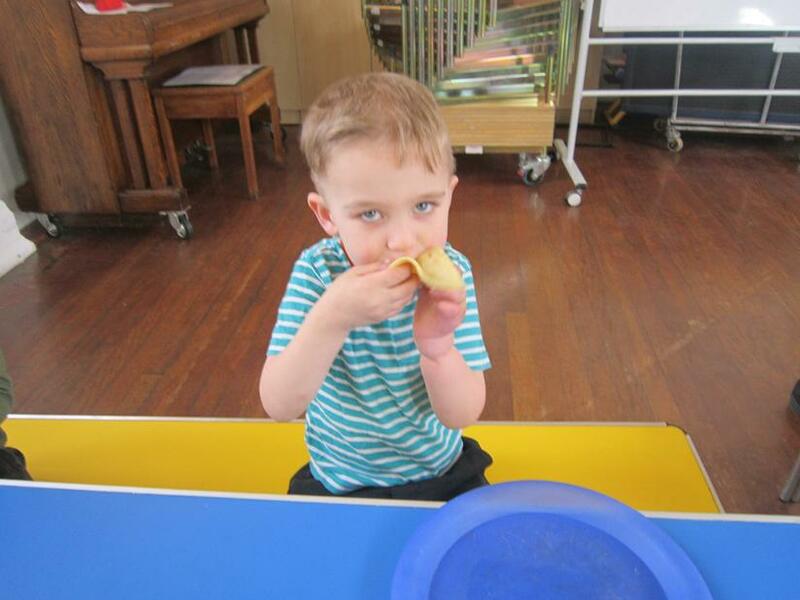 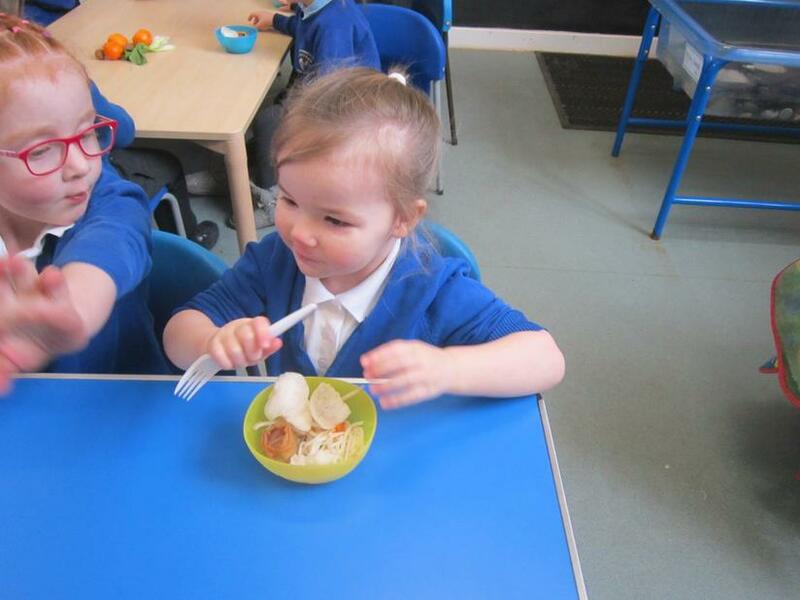 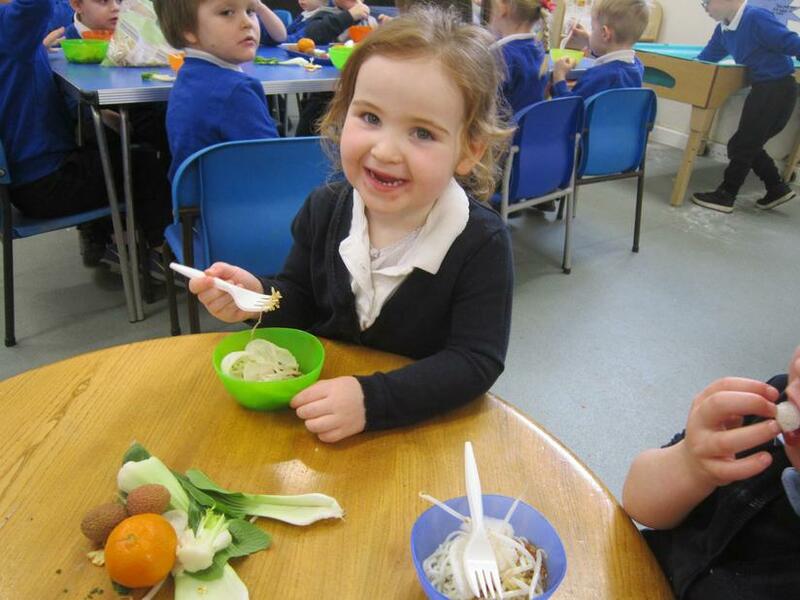 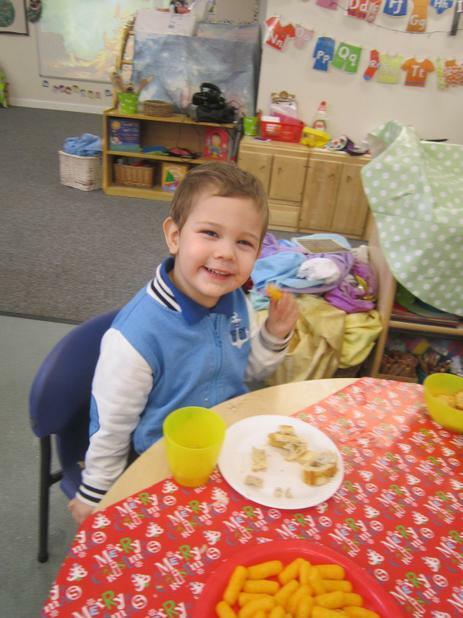 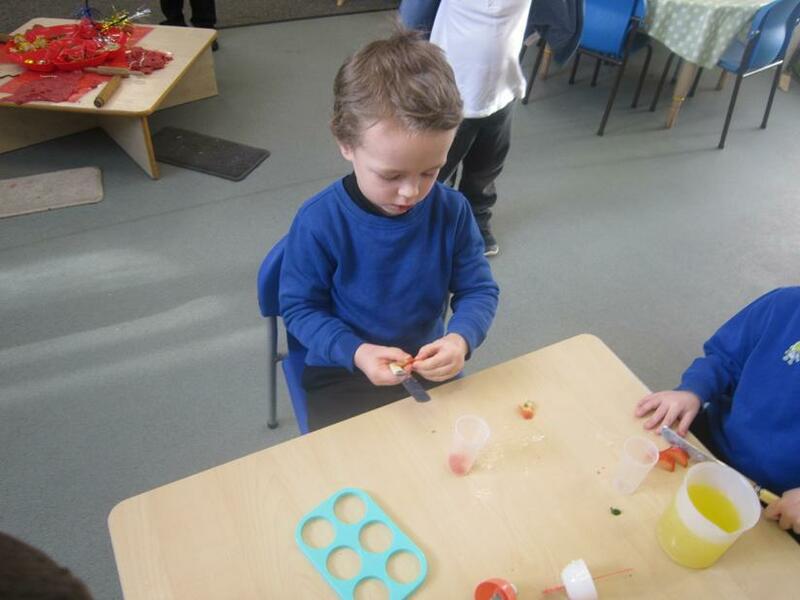 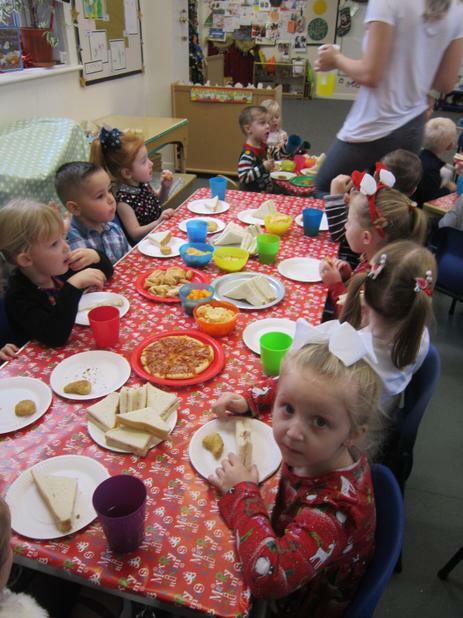 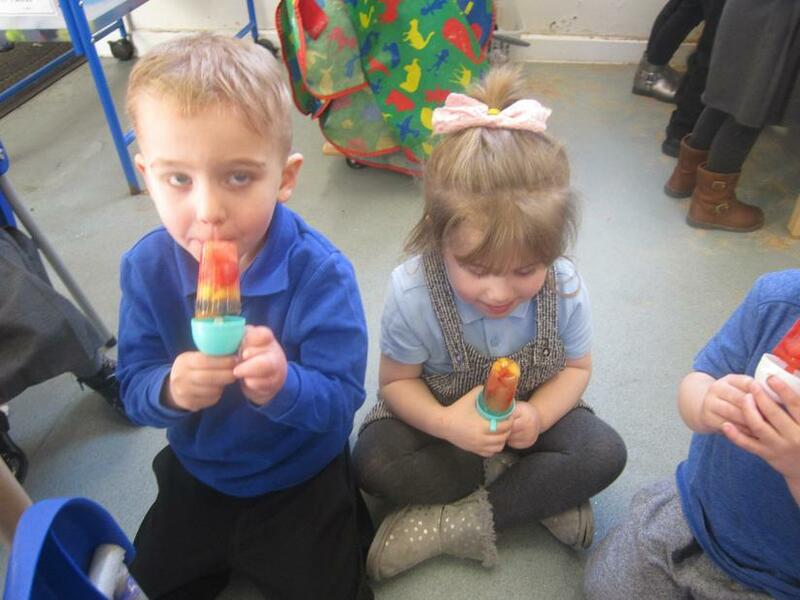 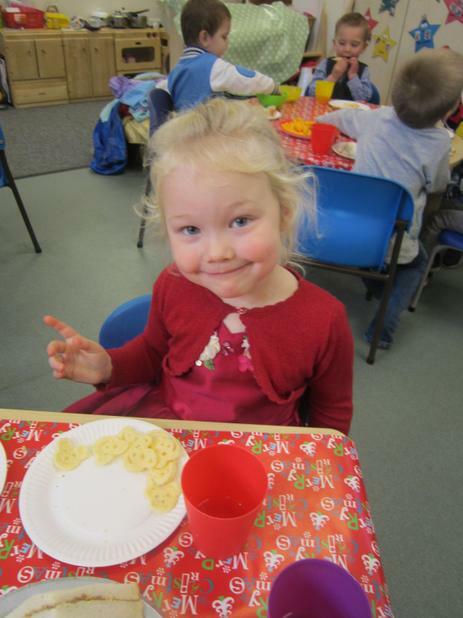 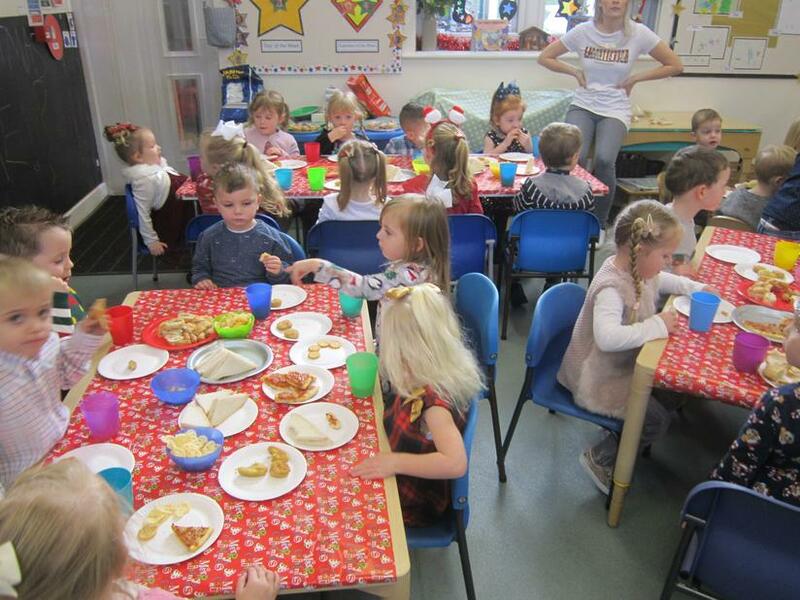 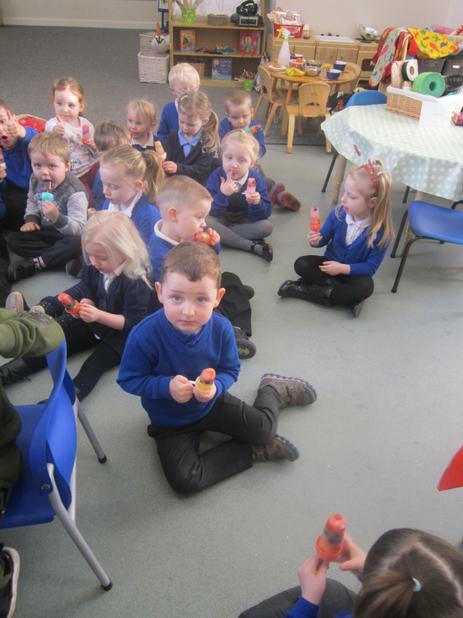 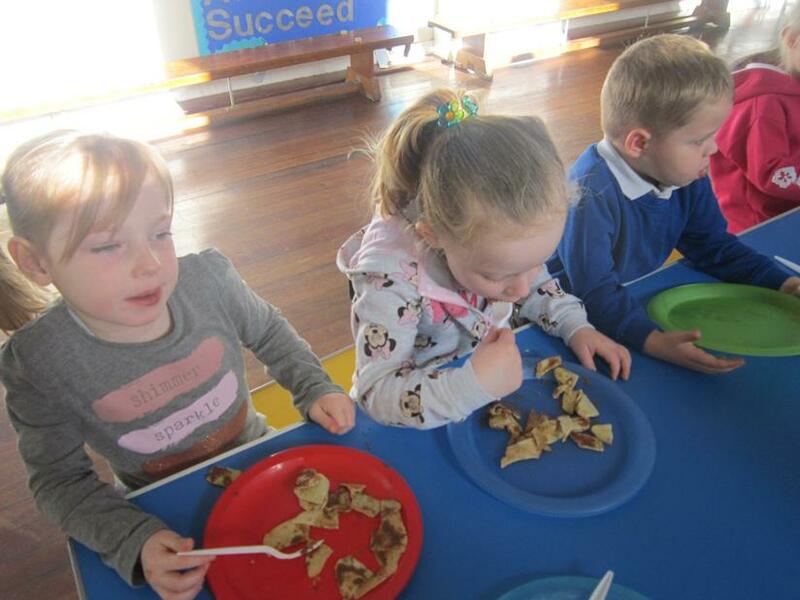 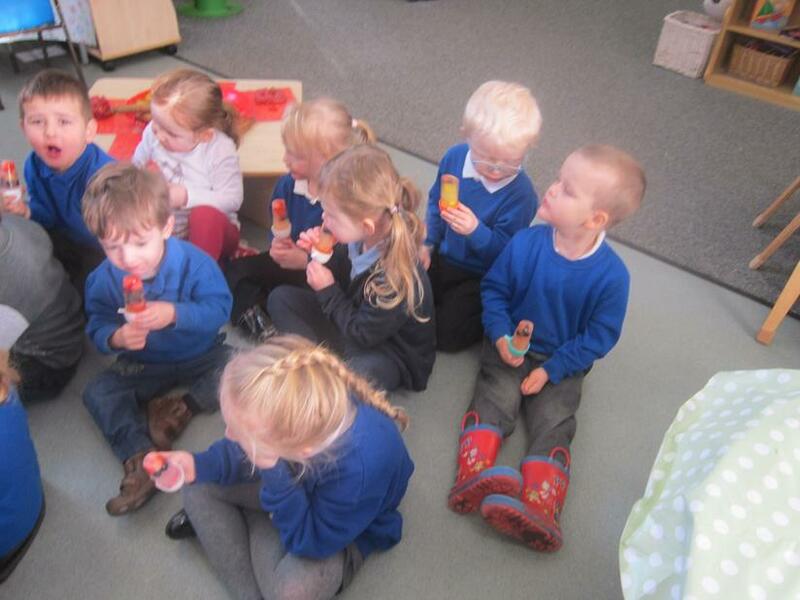 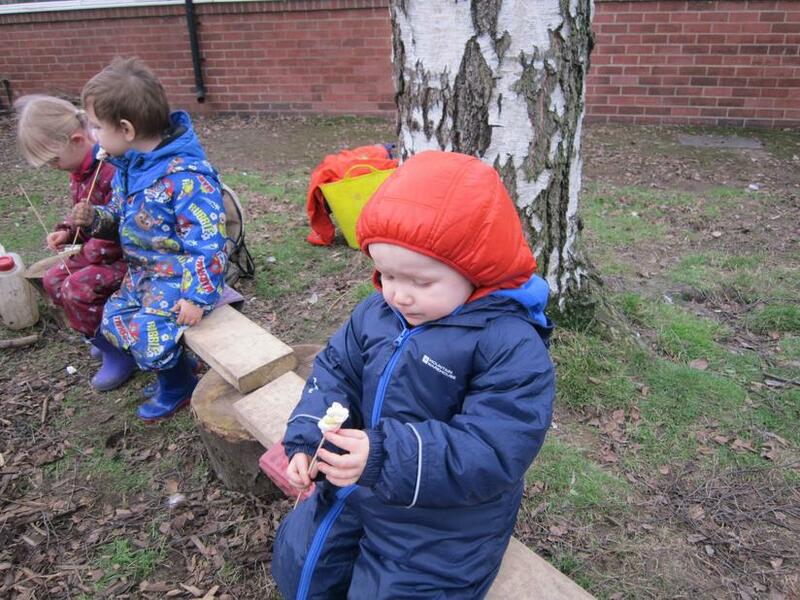 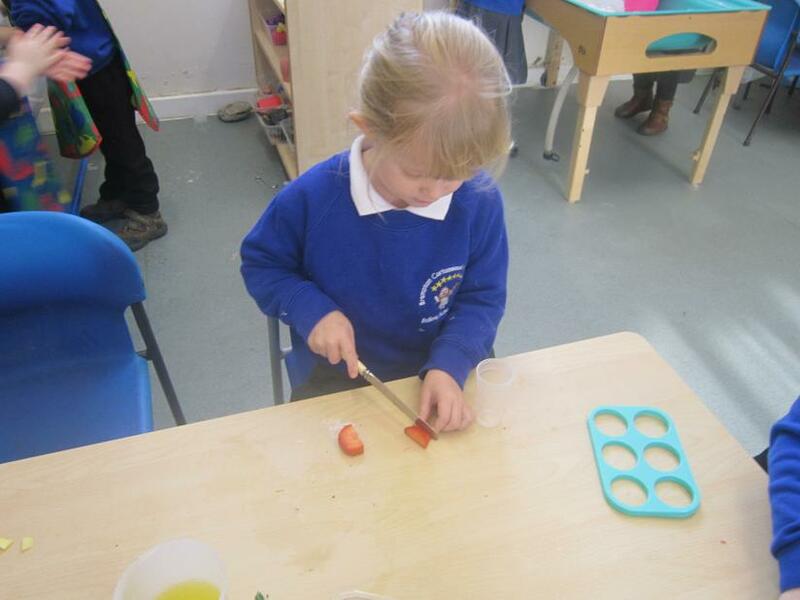 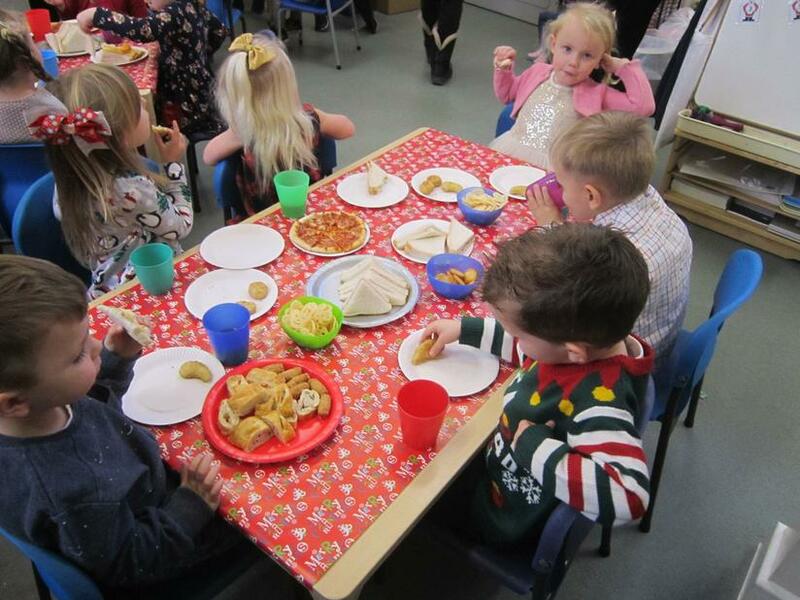 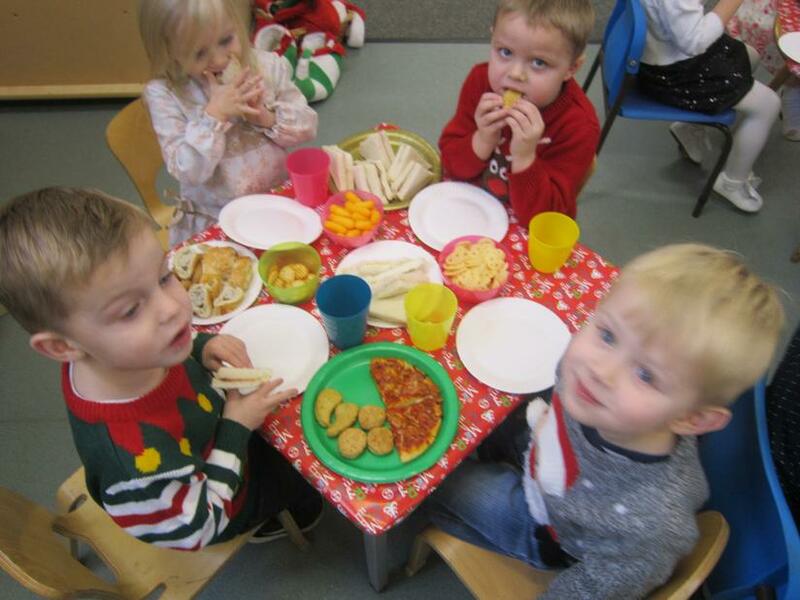 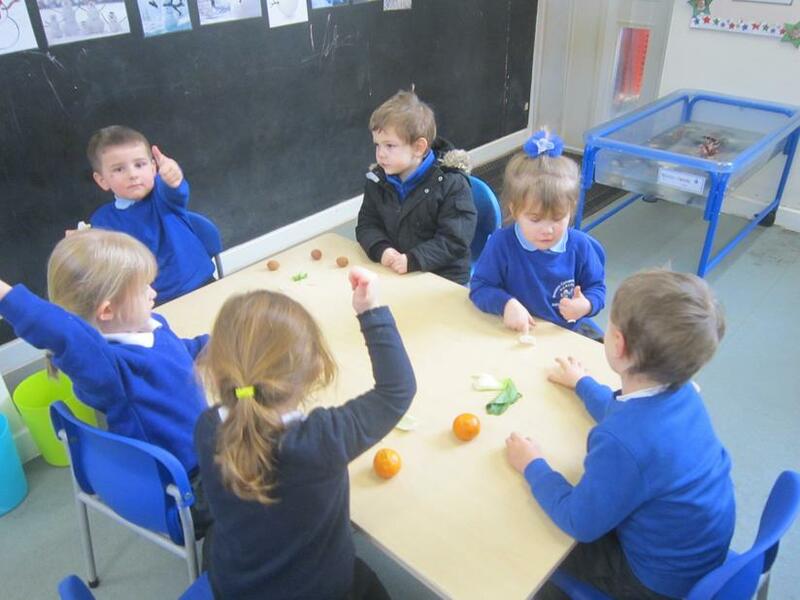 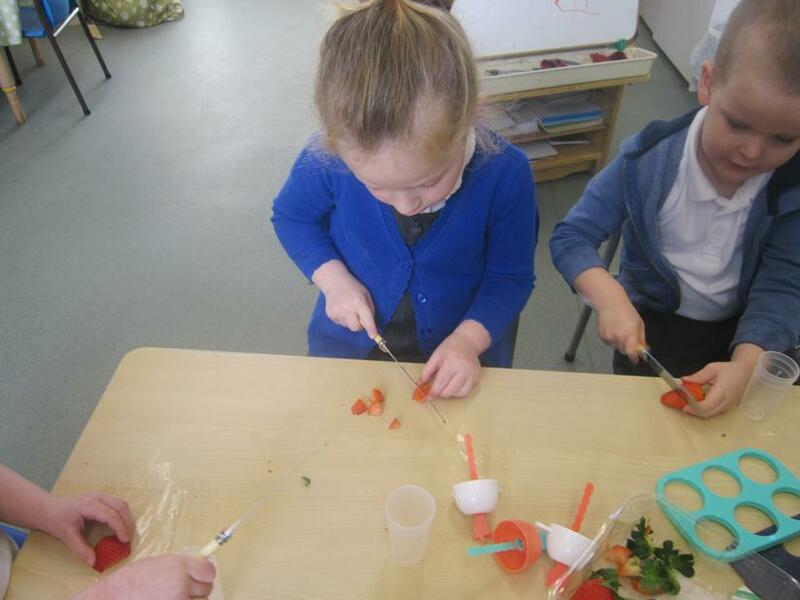 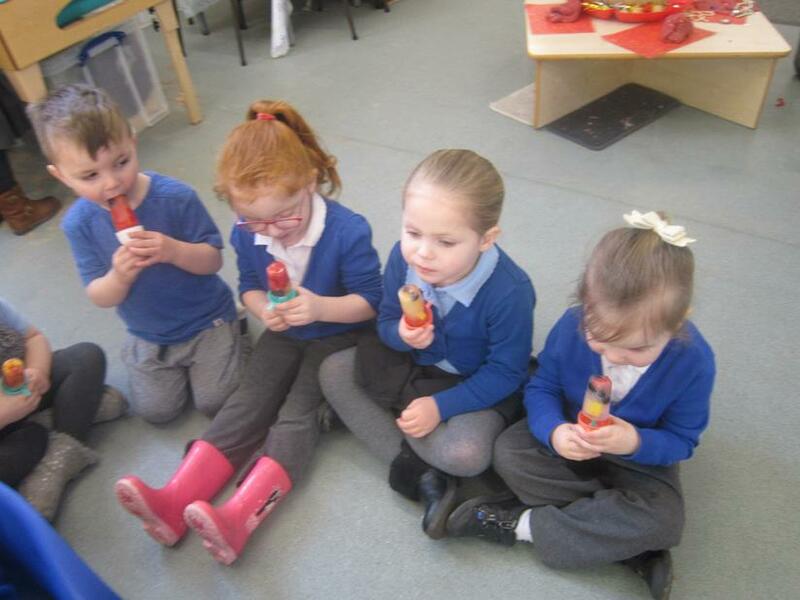 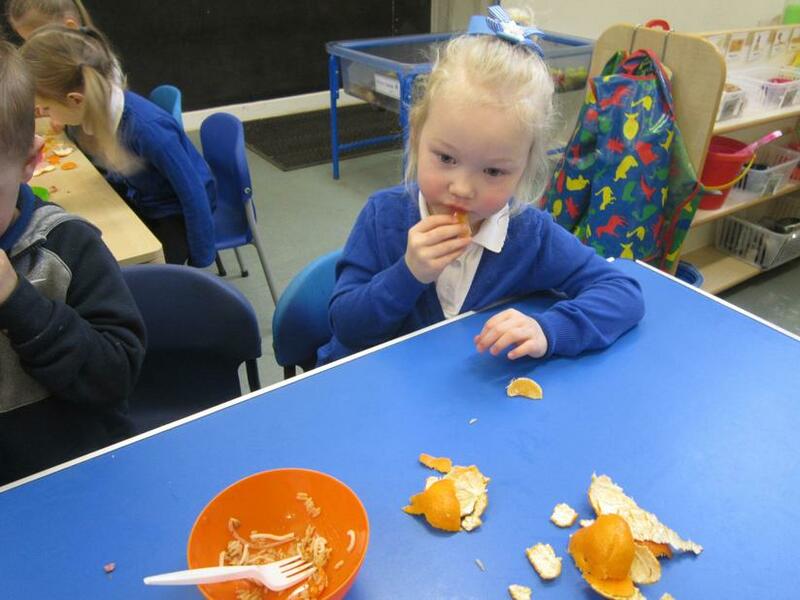 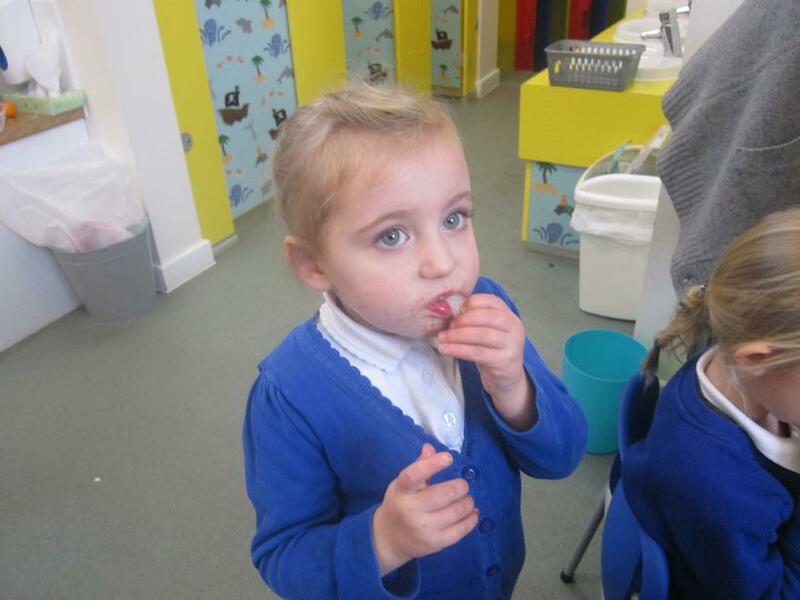 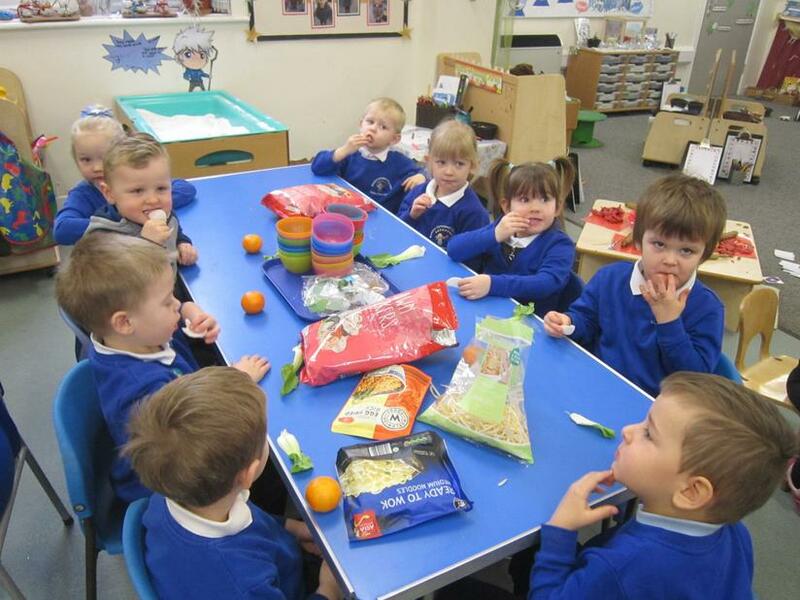 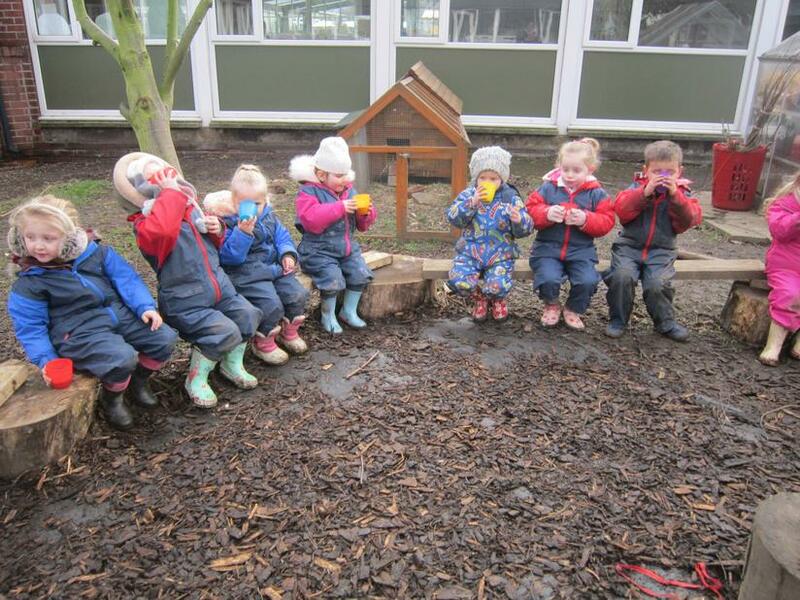 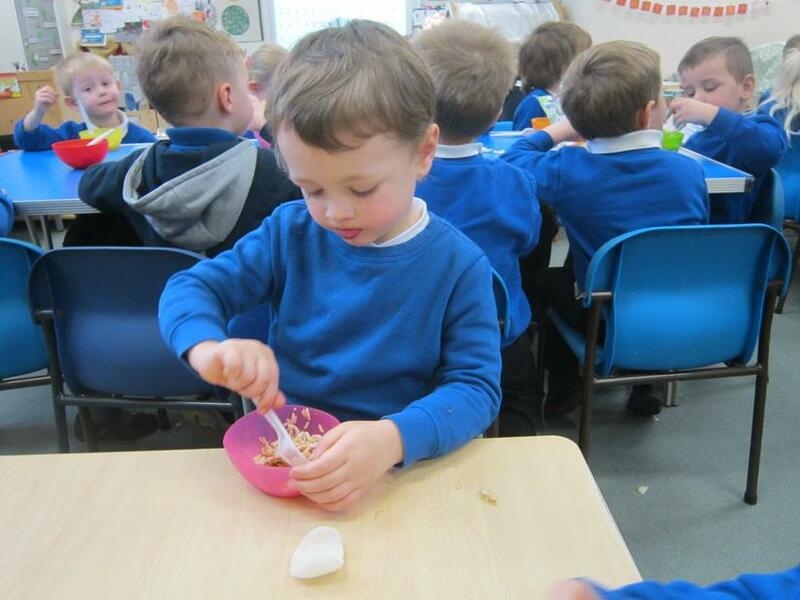 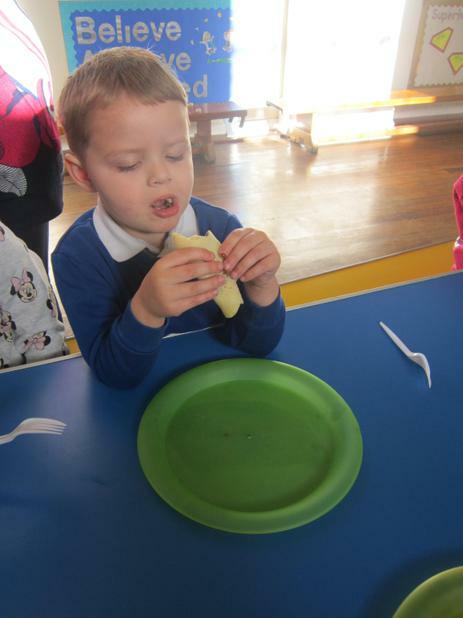 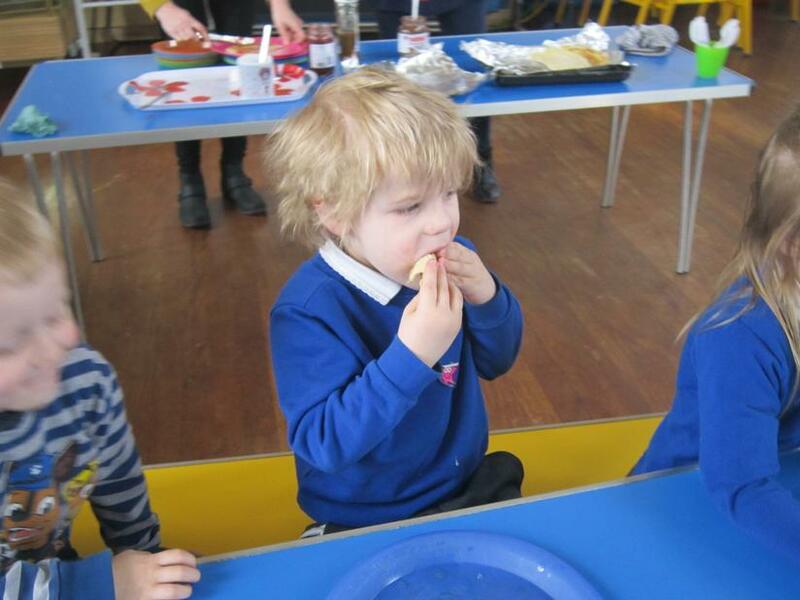 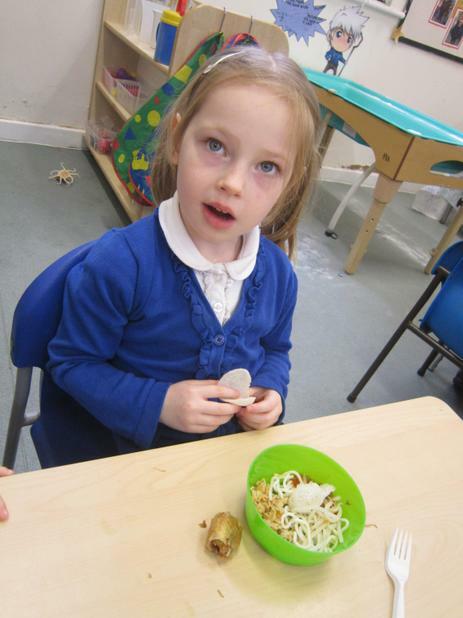 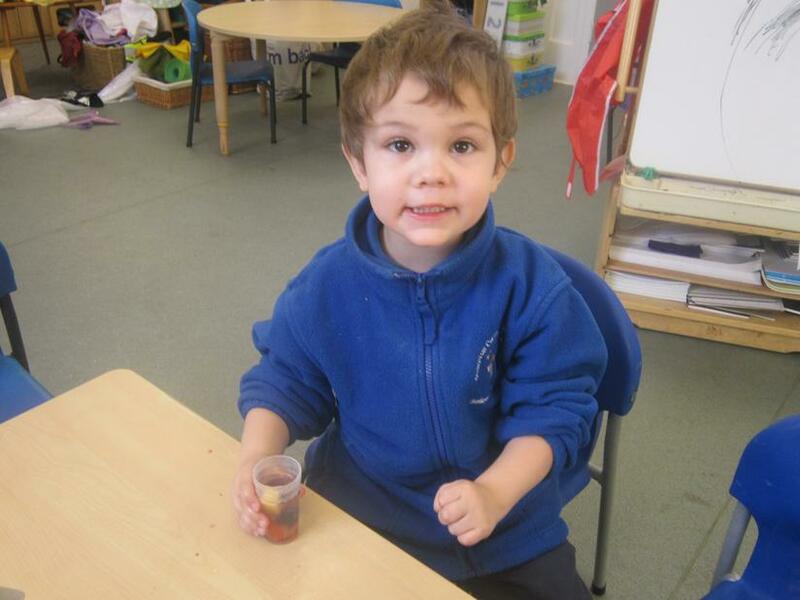 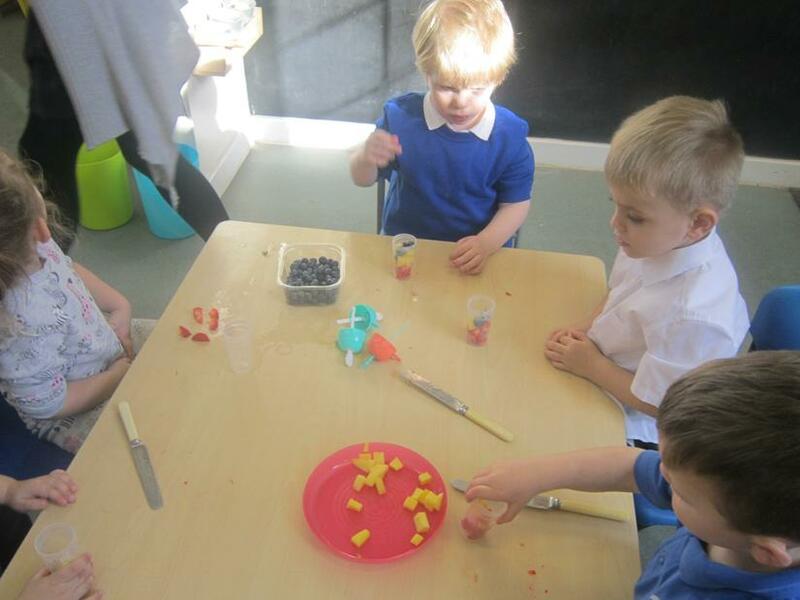 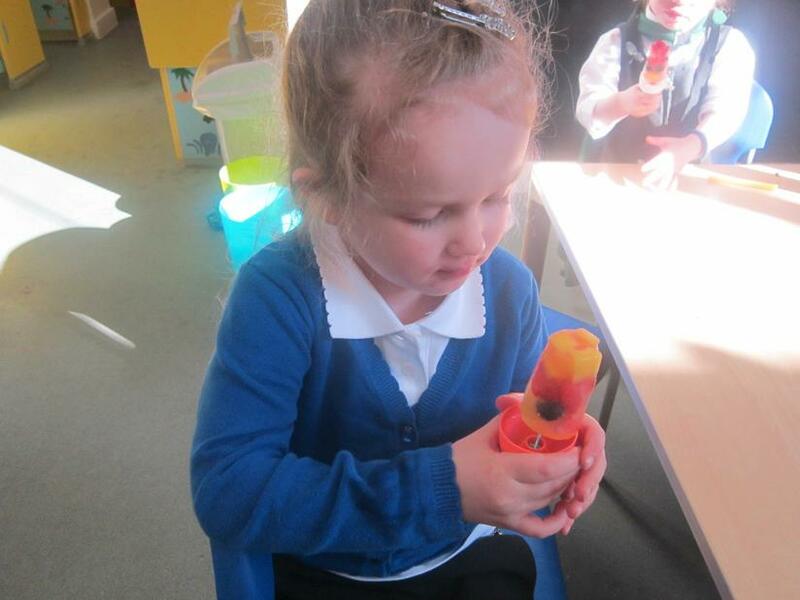 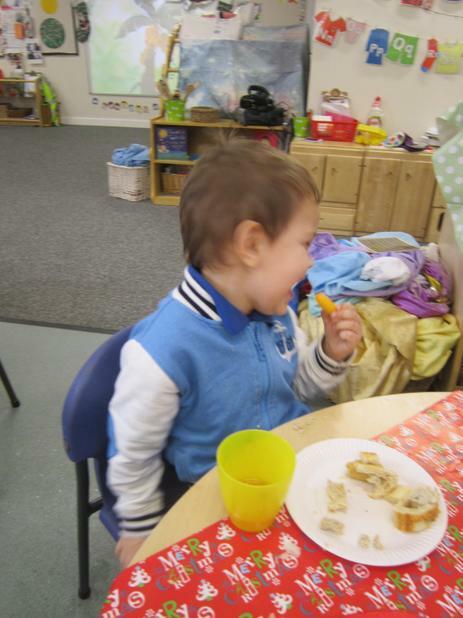 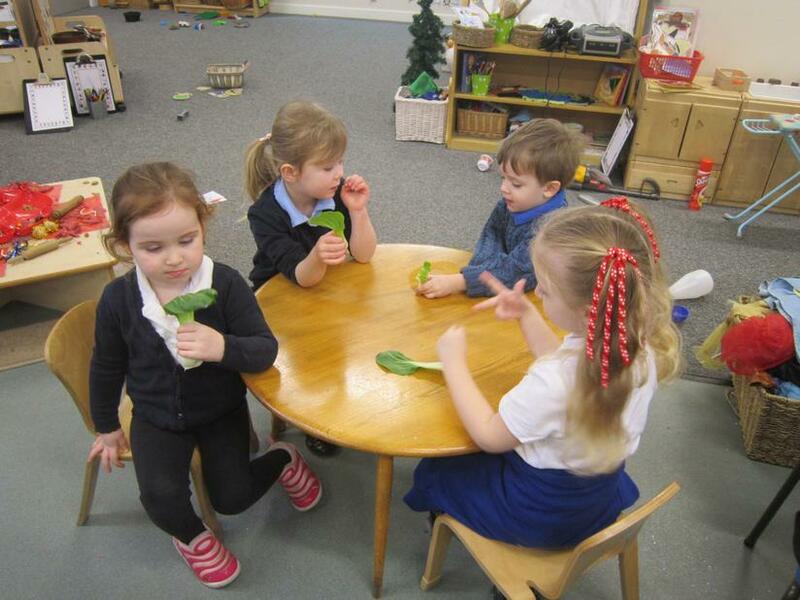 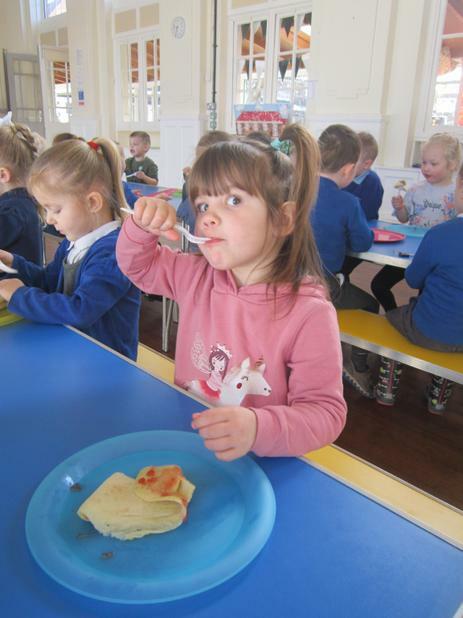 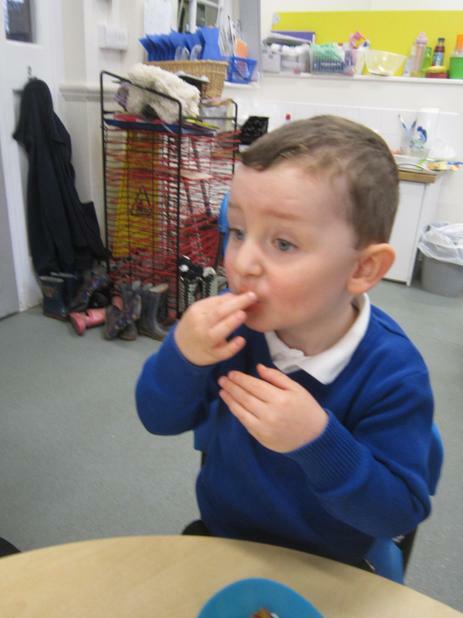 F1 children made, chopped fresh fruit and ate their own fruit ice lolly. 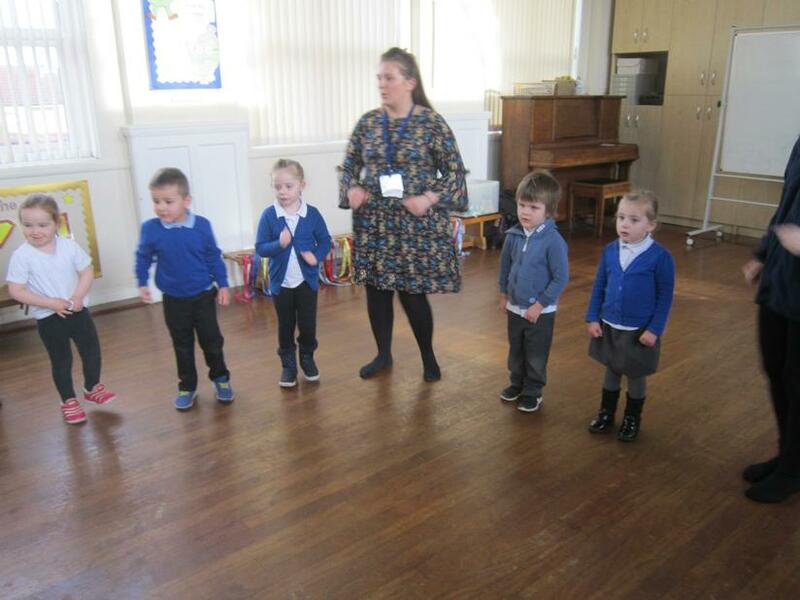 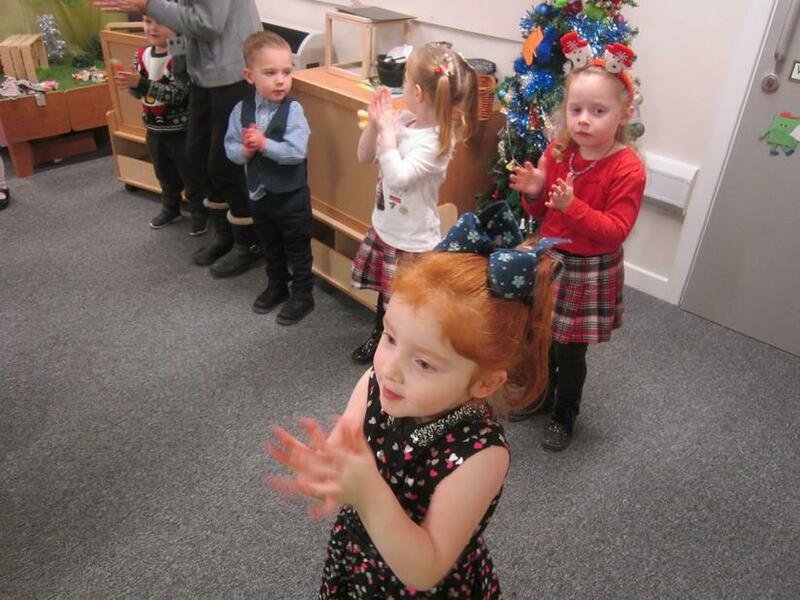 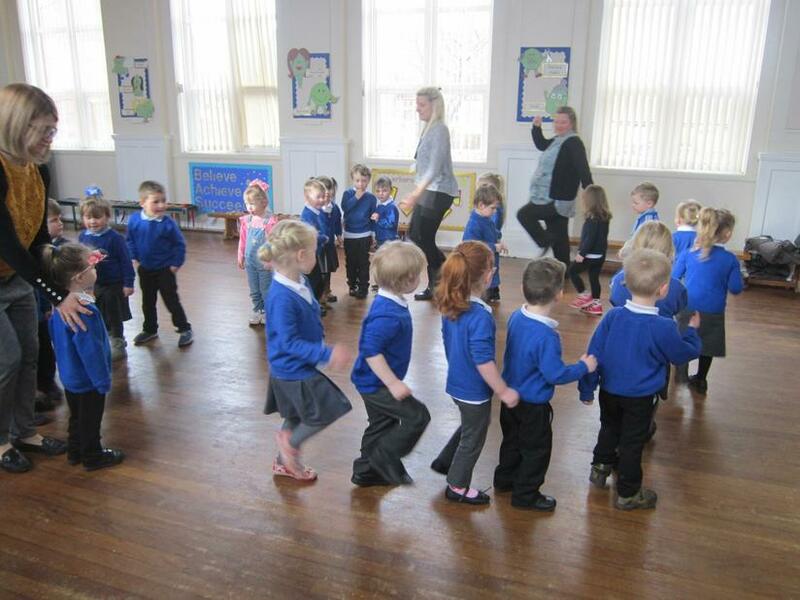 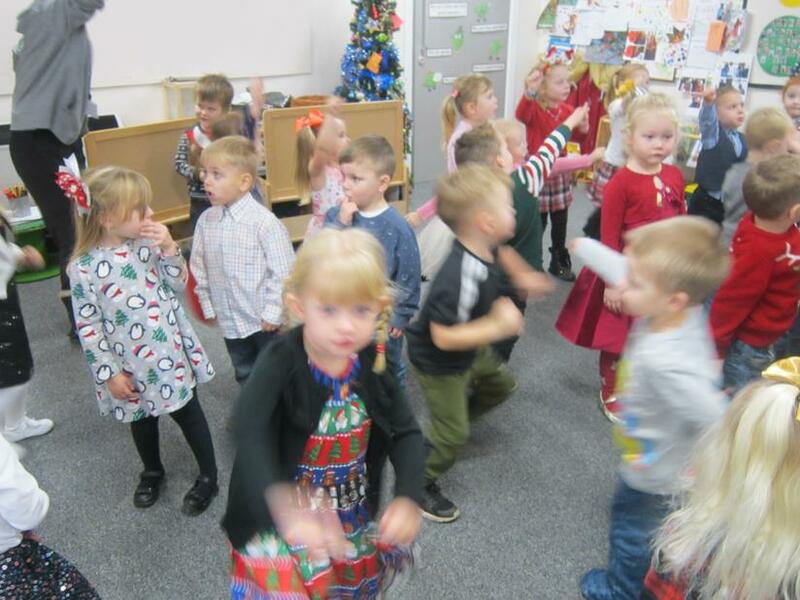 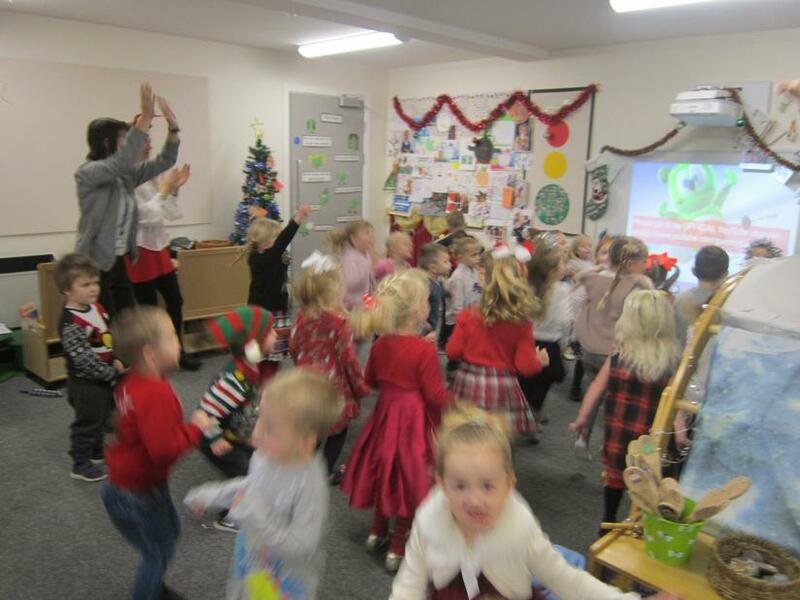 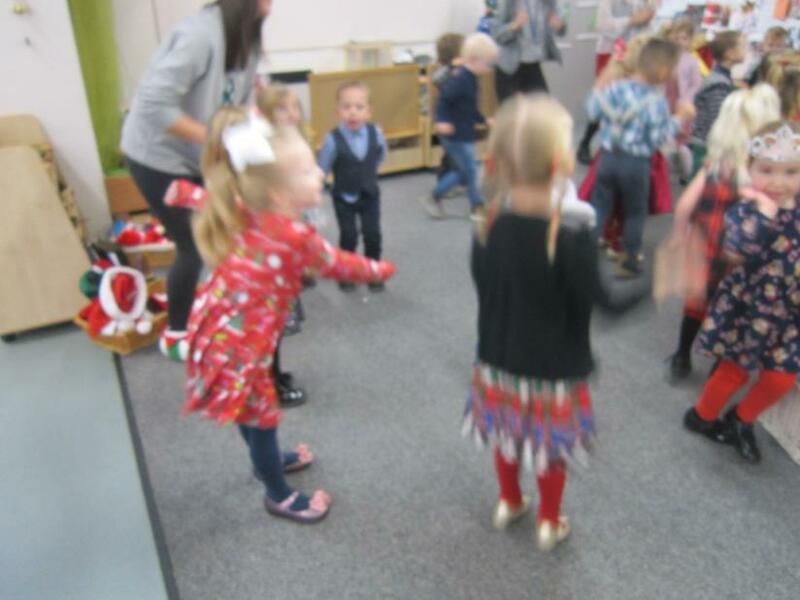 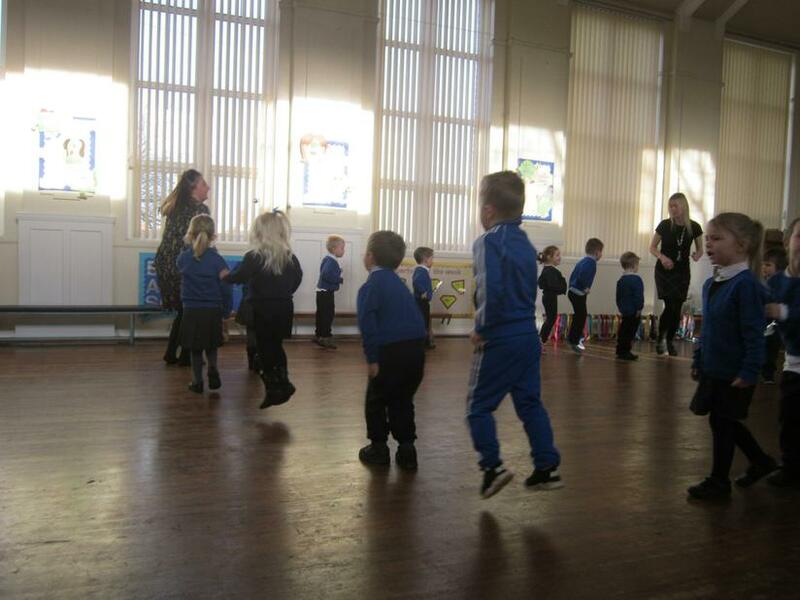 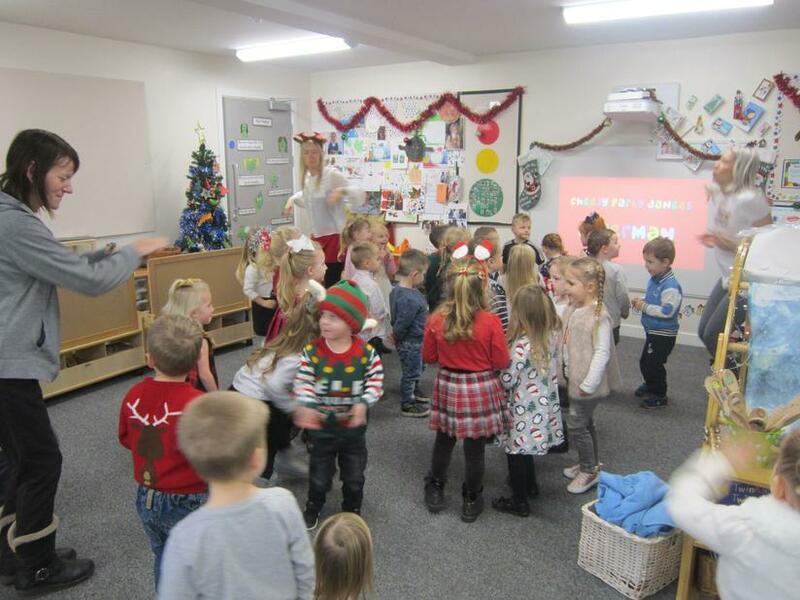 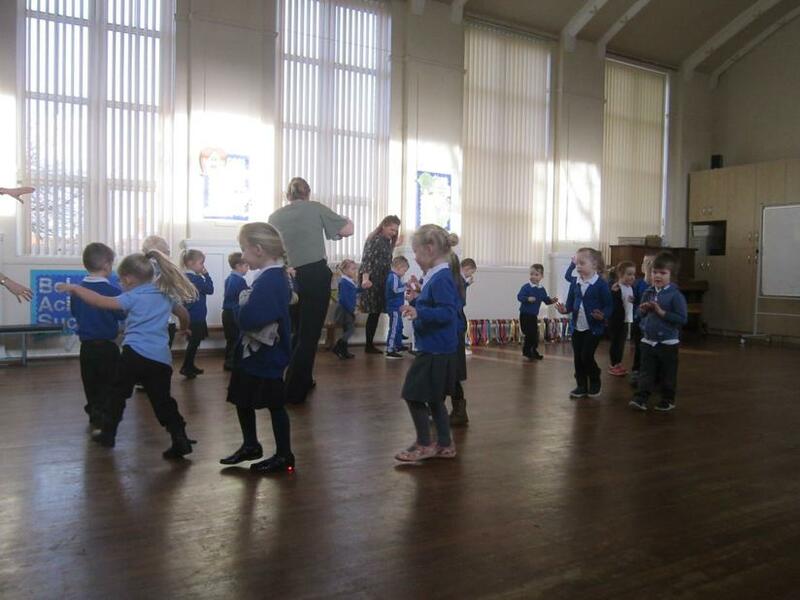 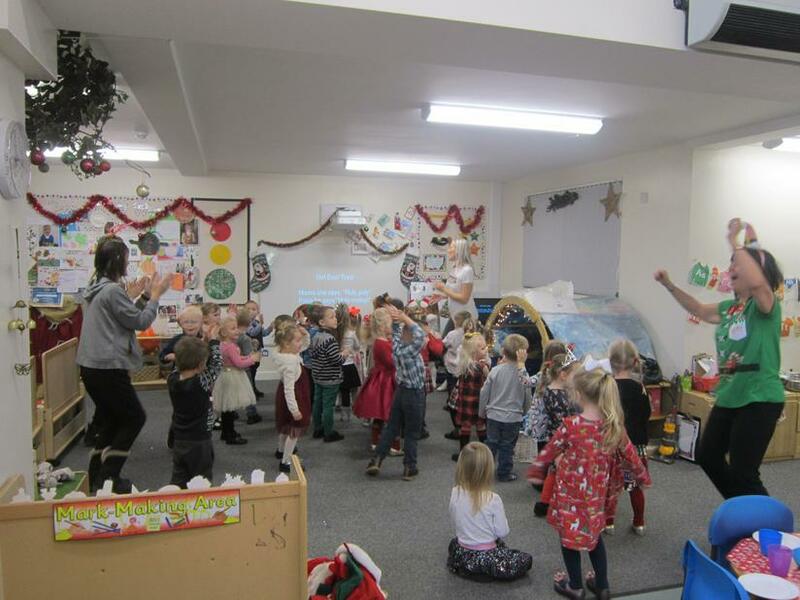 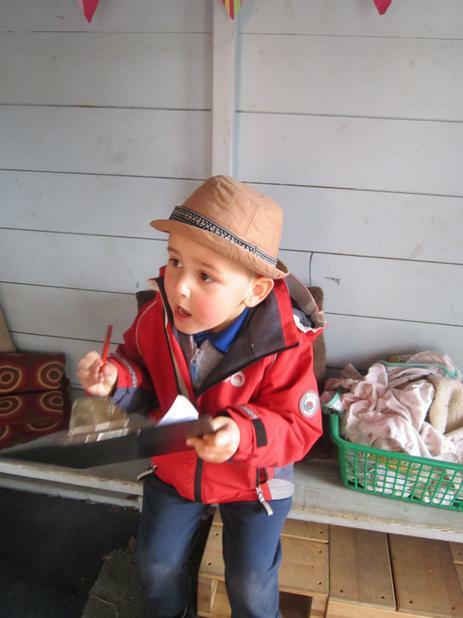 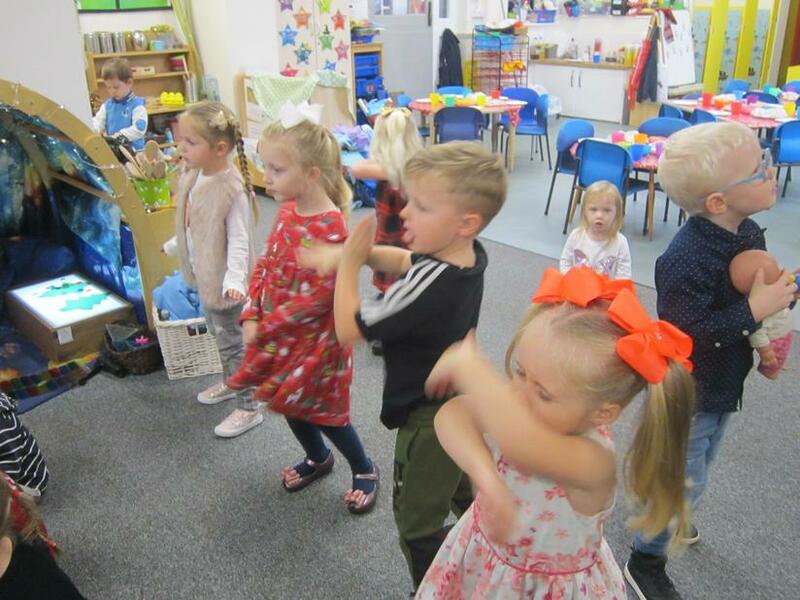 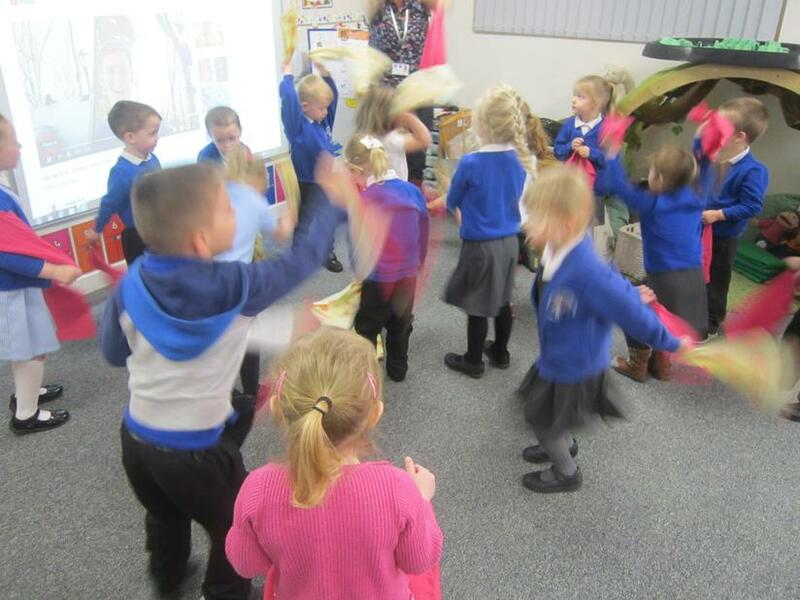 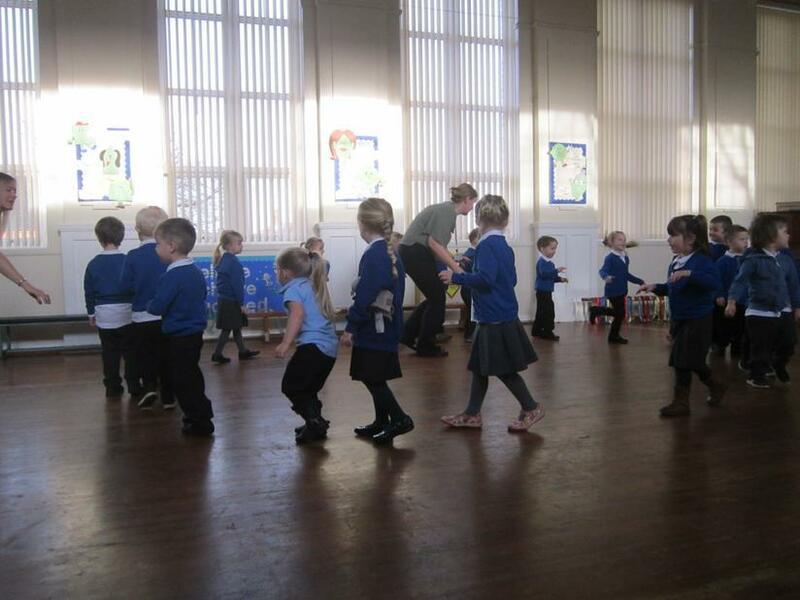 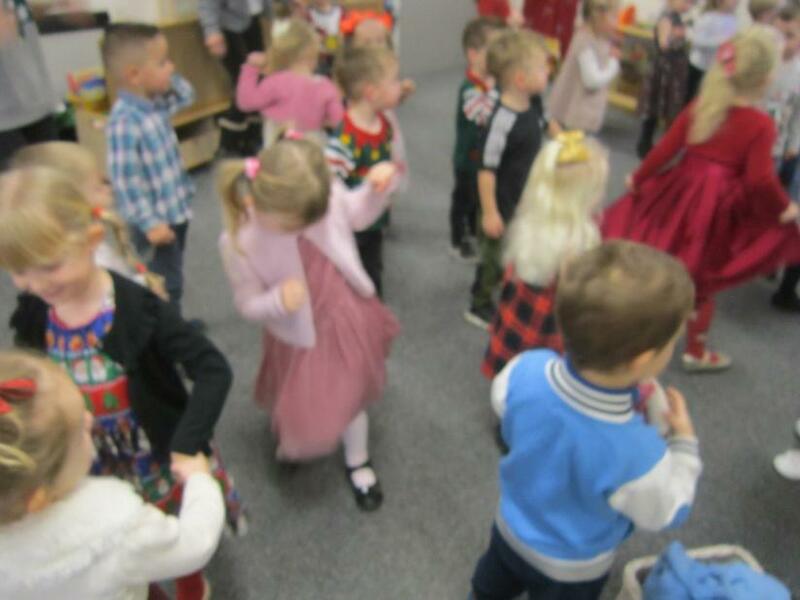 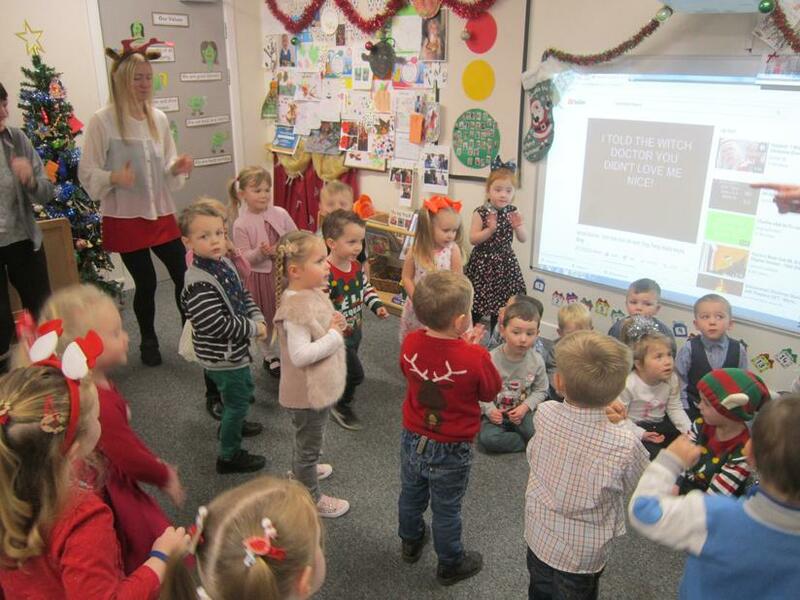 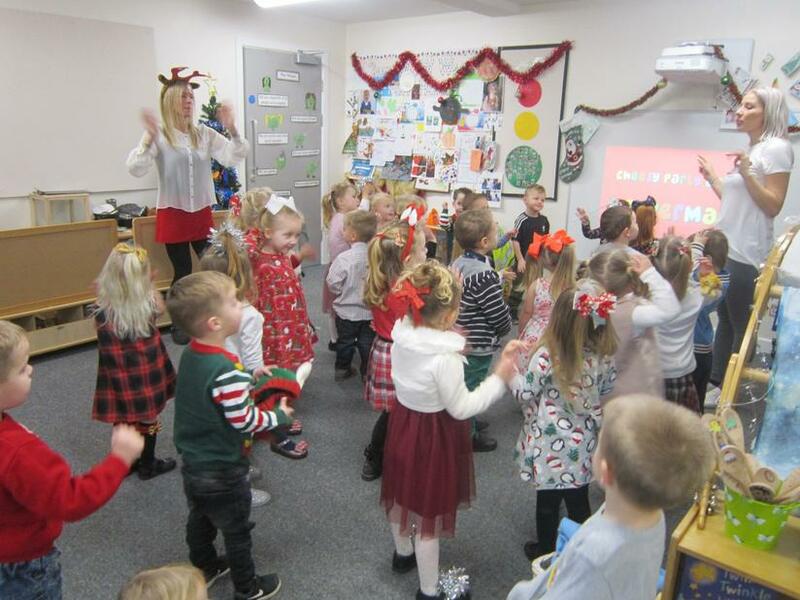 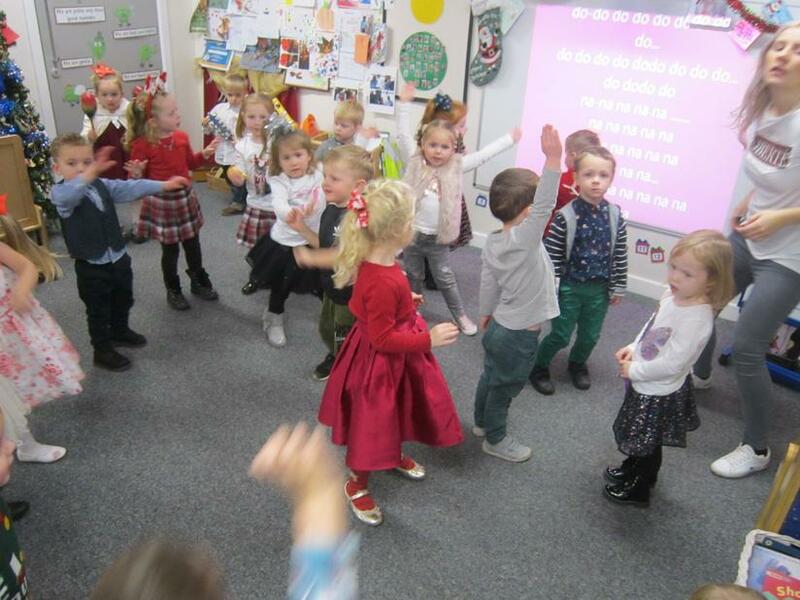 Oue movement to music with our Outreach workers. 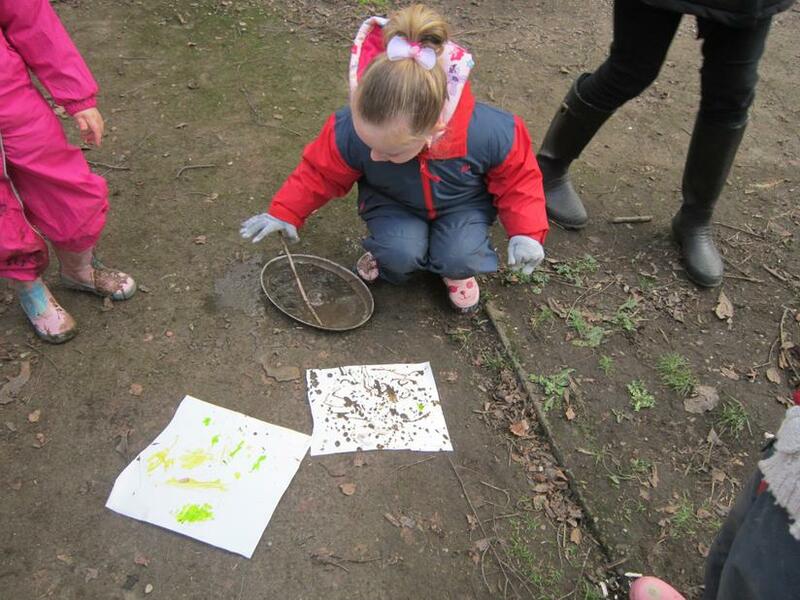 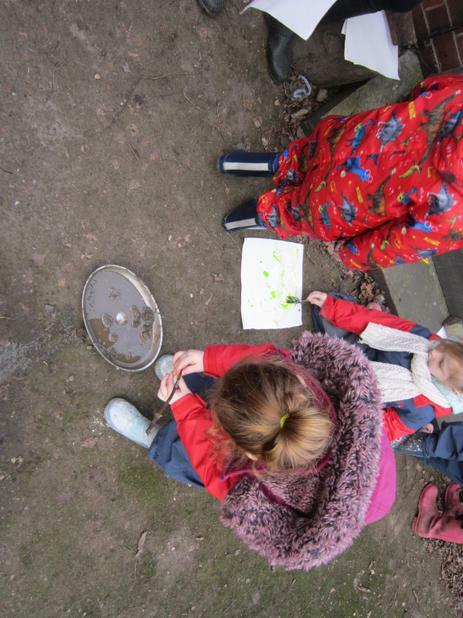 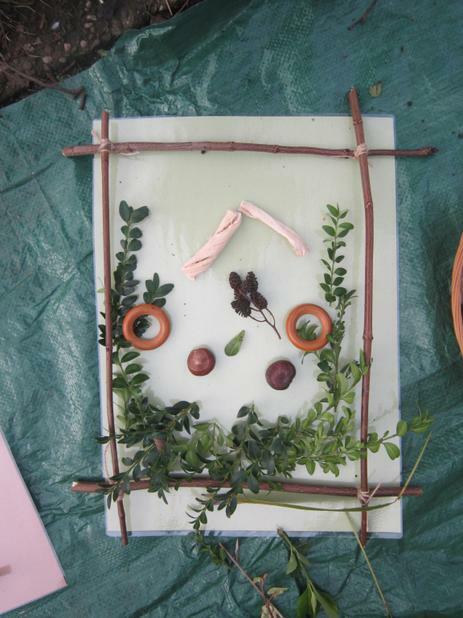 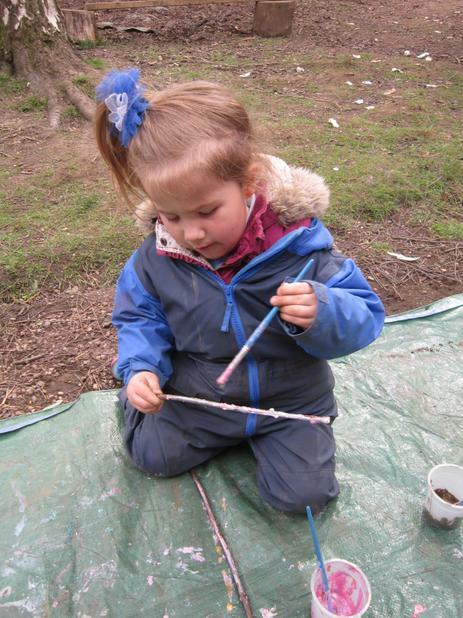 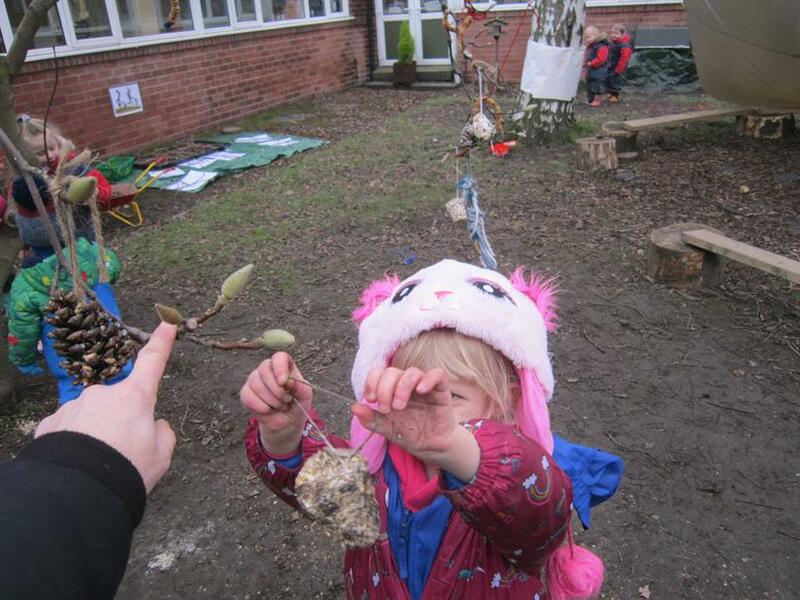 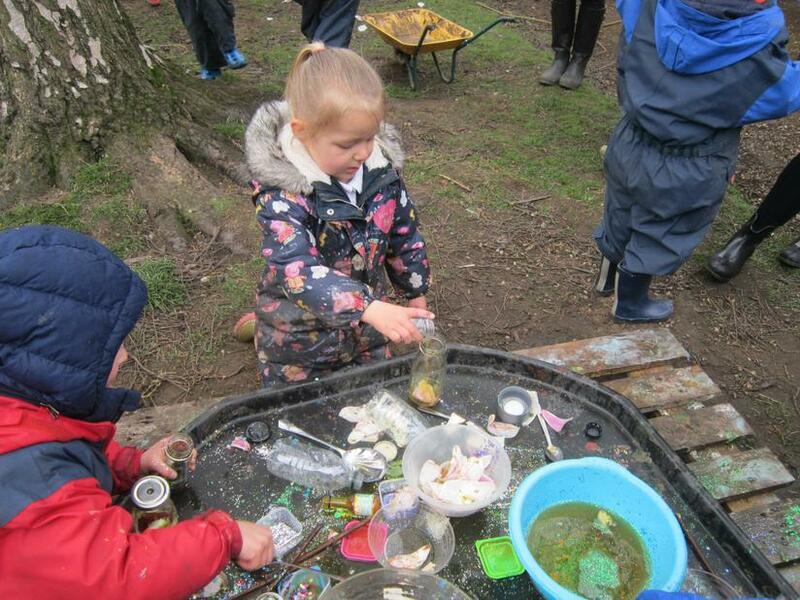 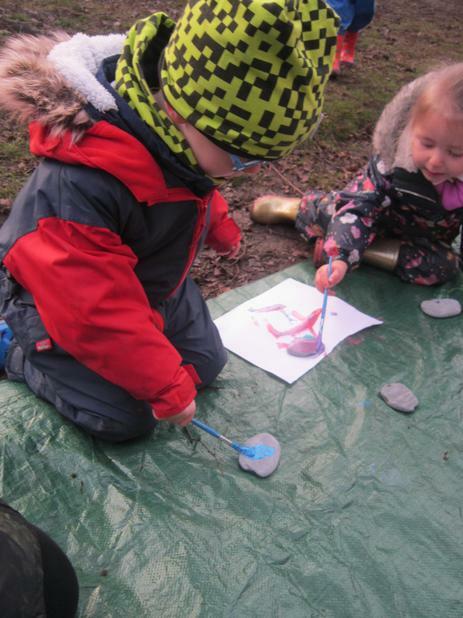 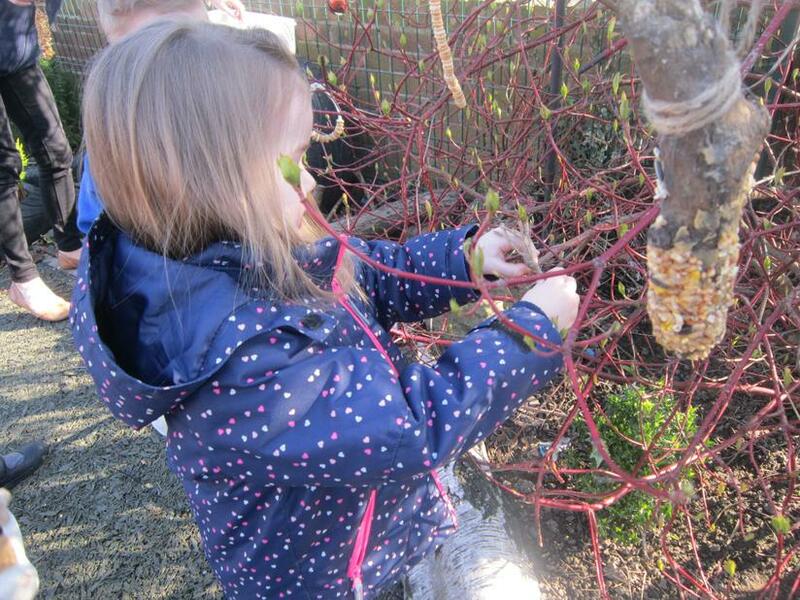 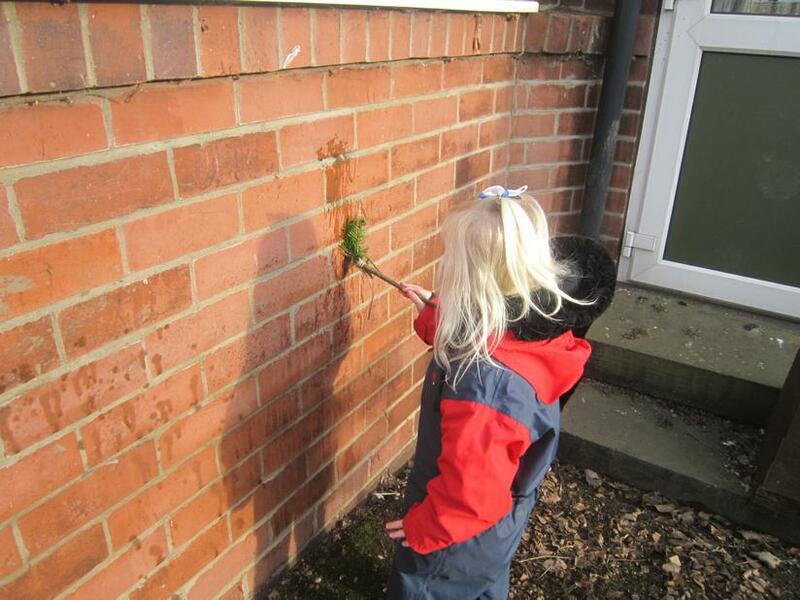 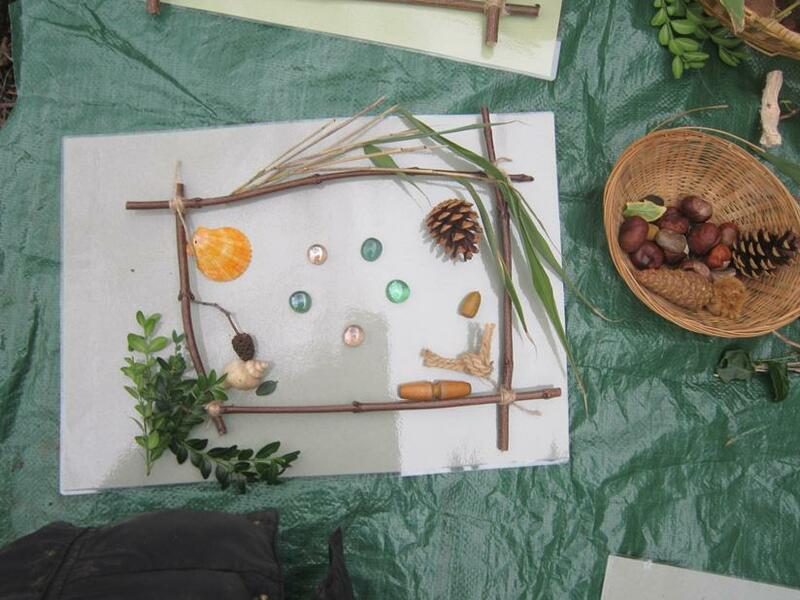 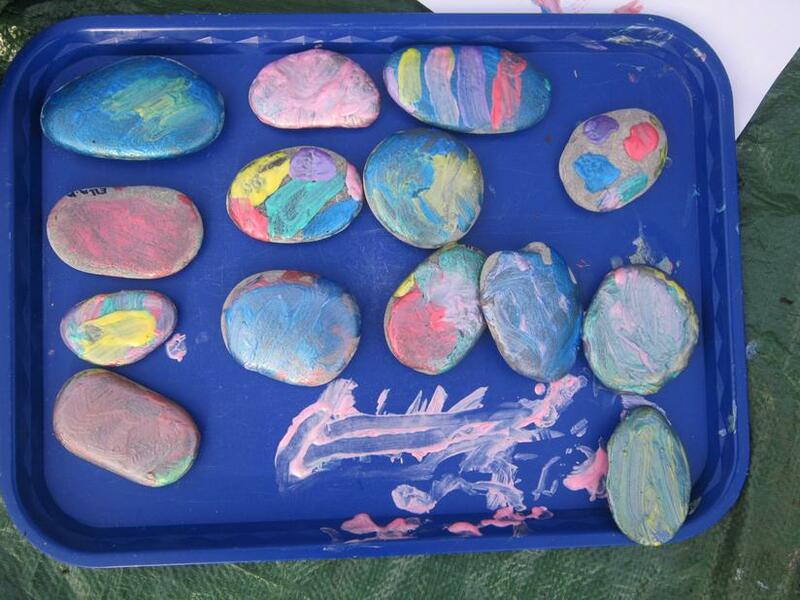 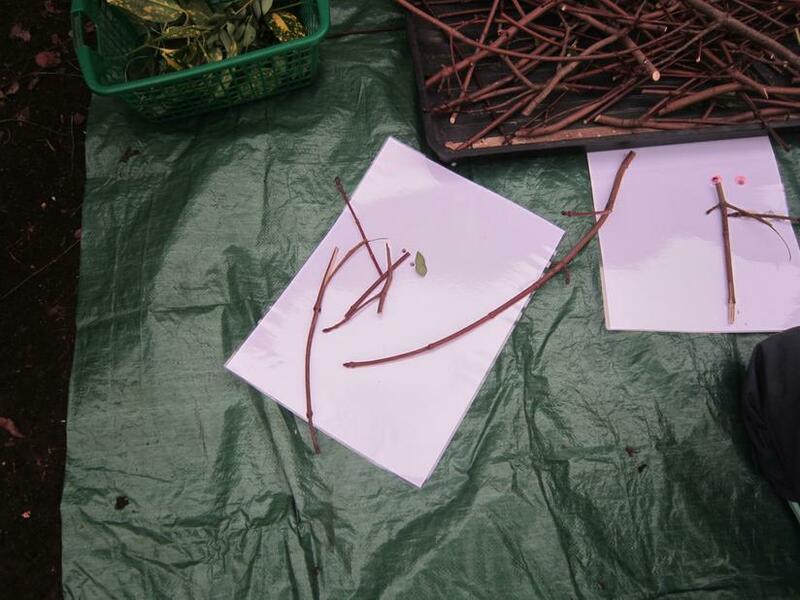 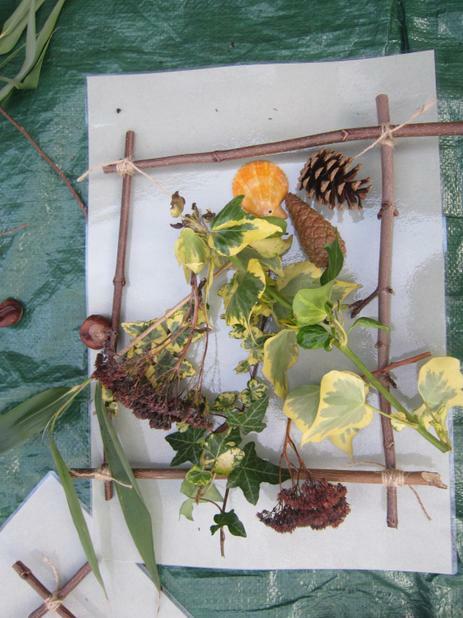 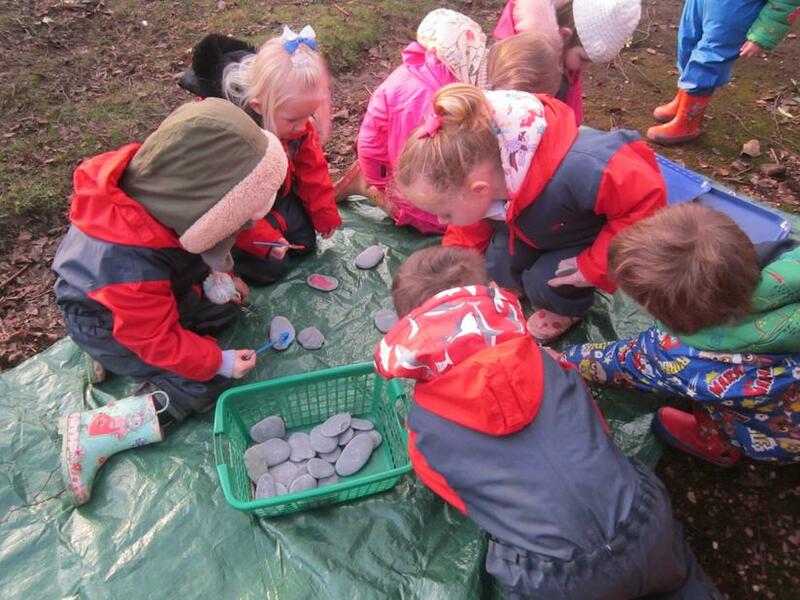 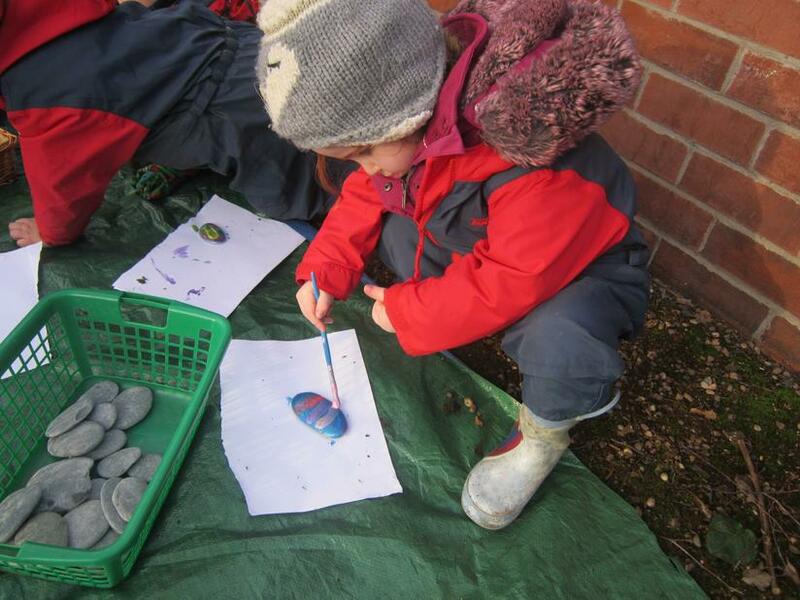 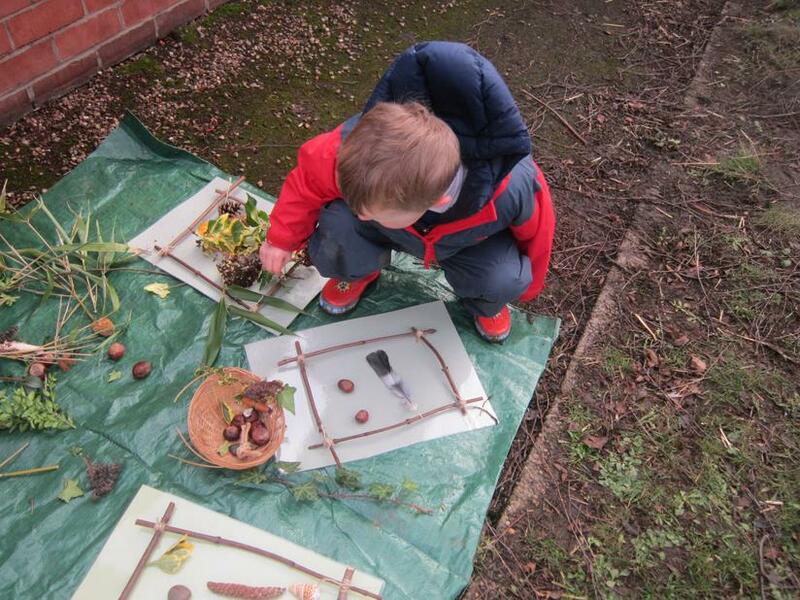 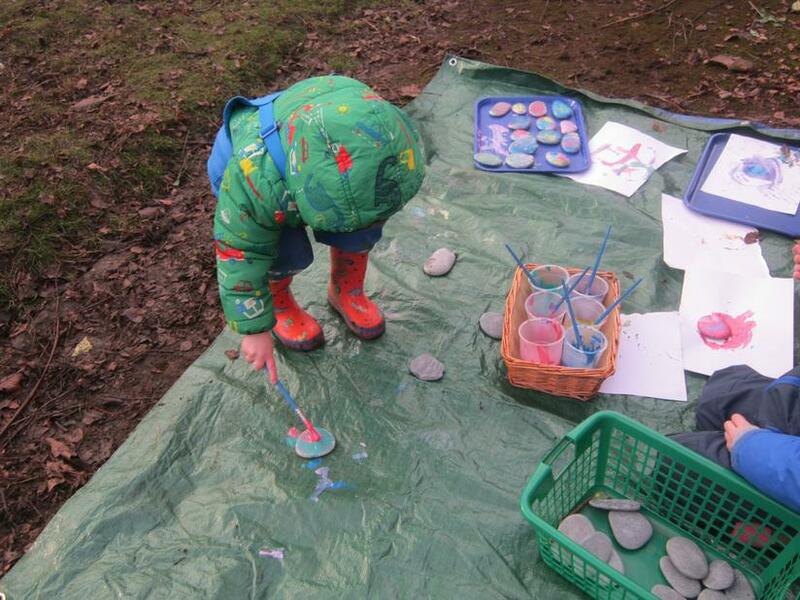 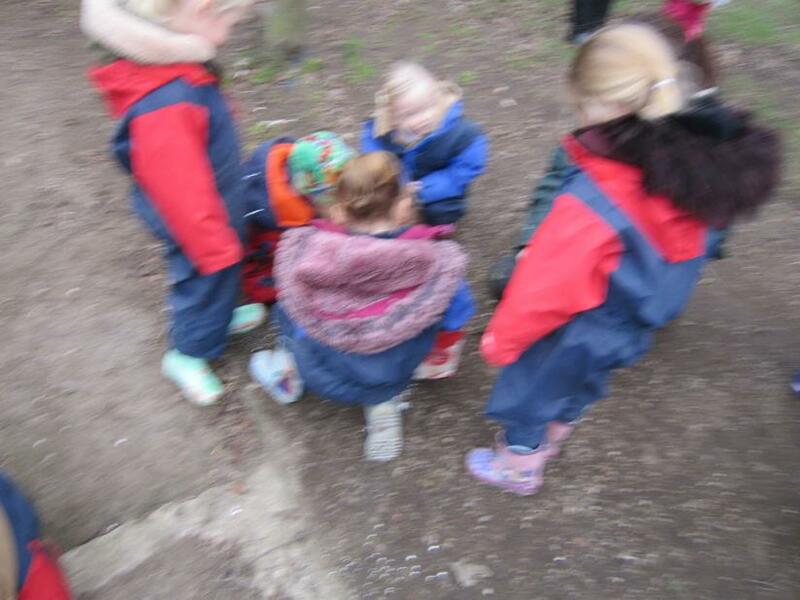 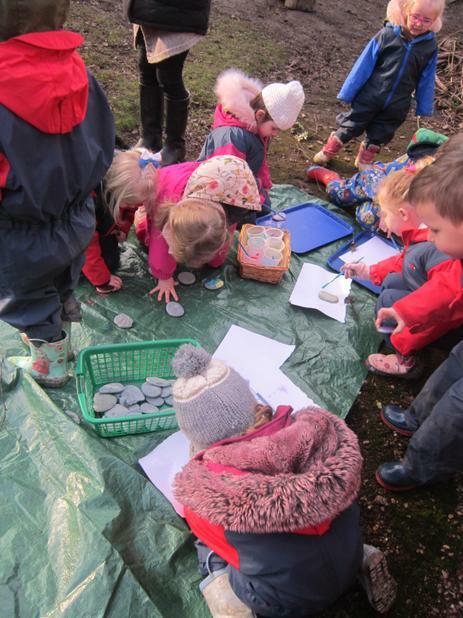 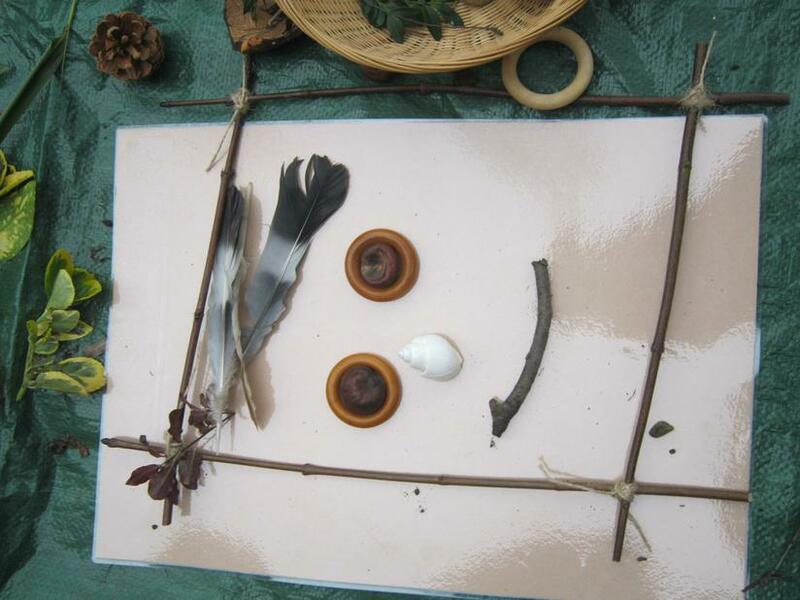 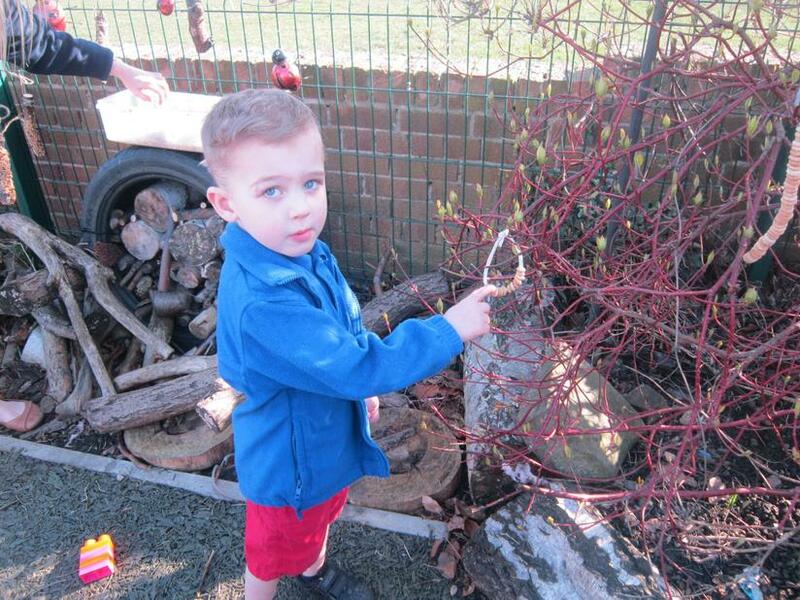 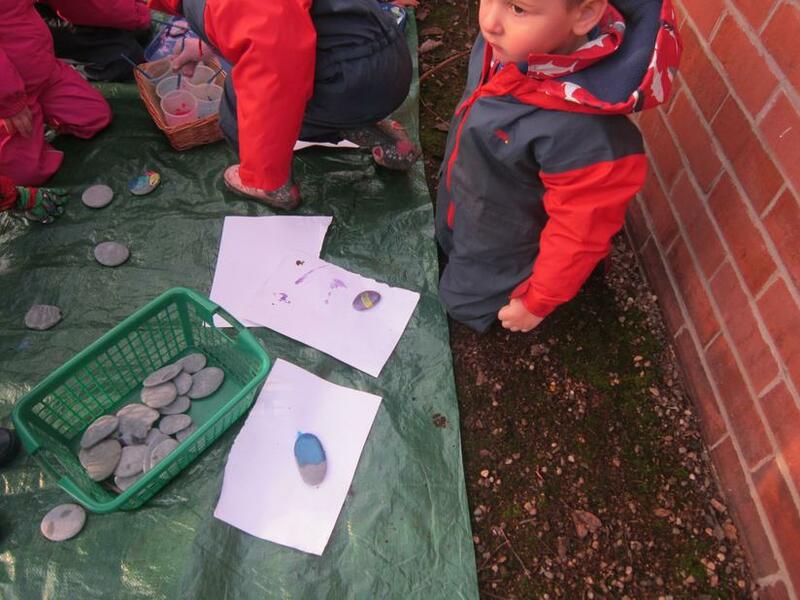 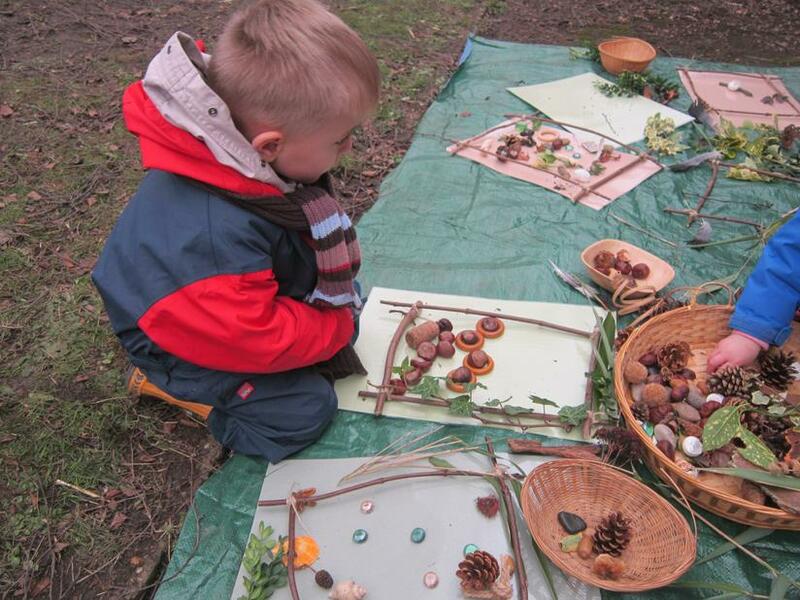 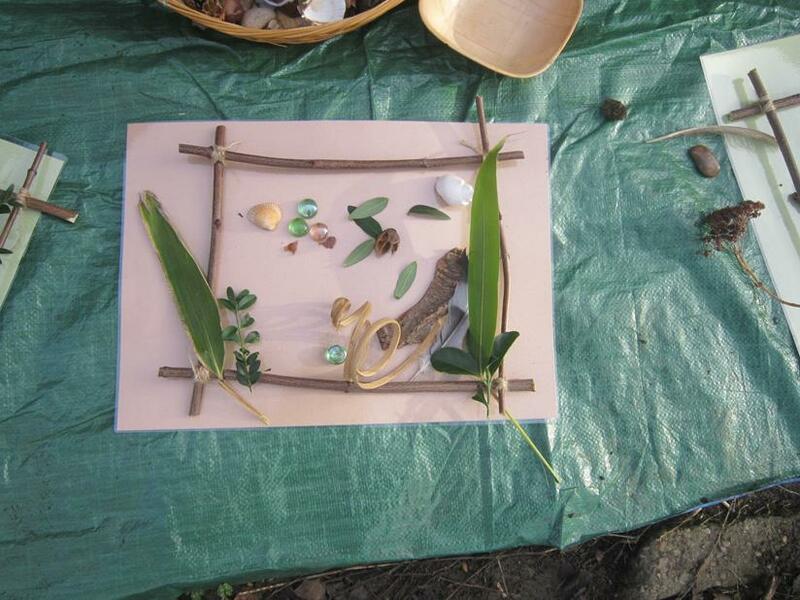 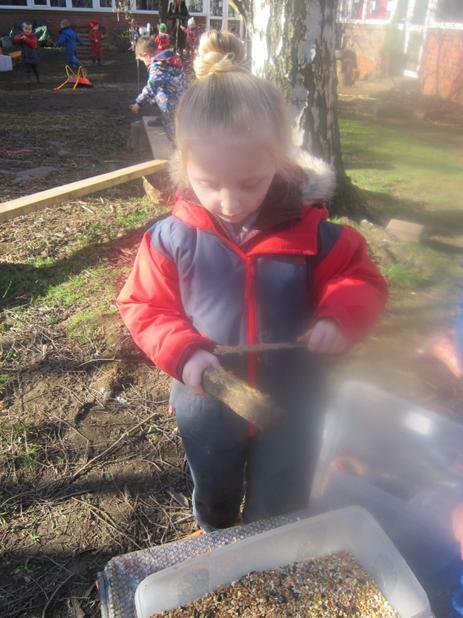 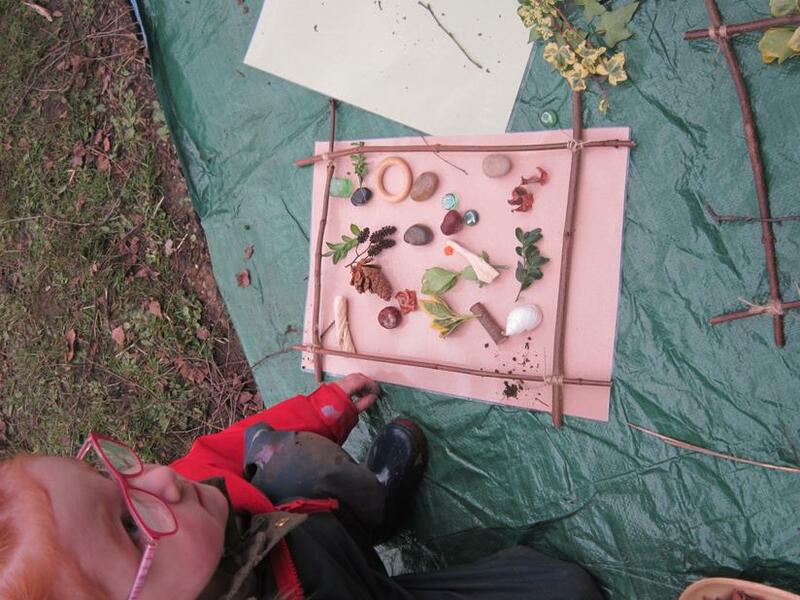 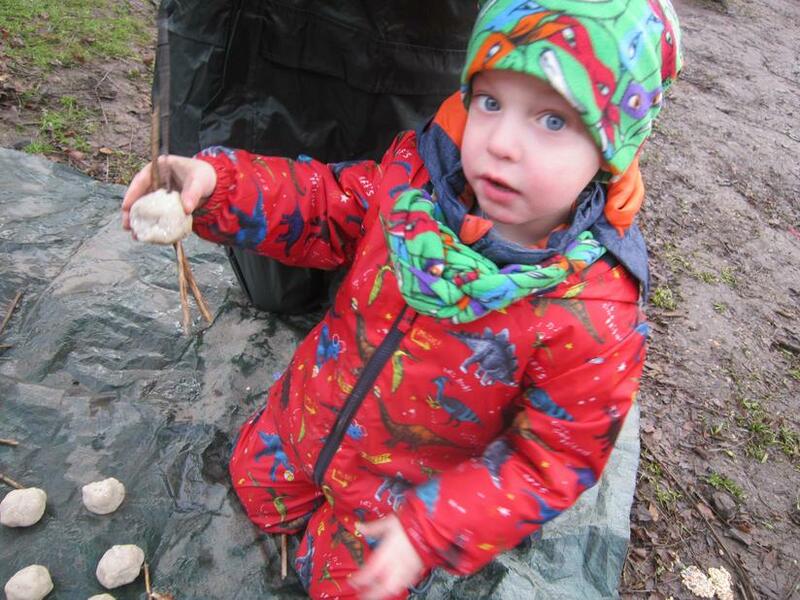 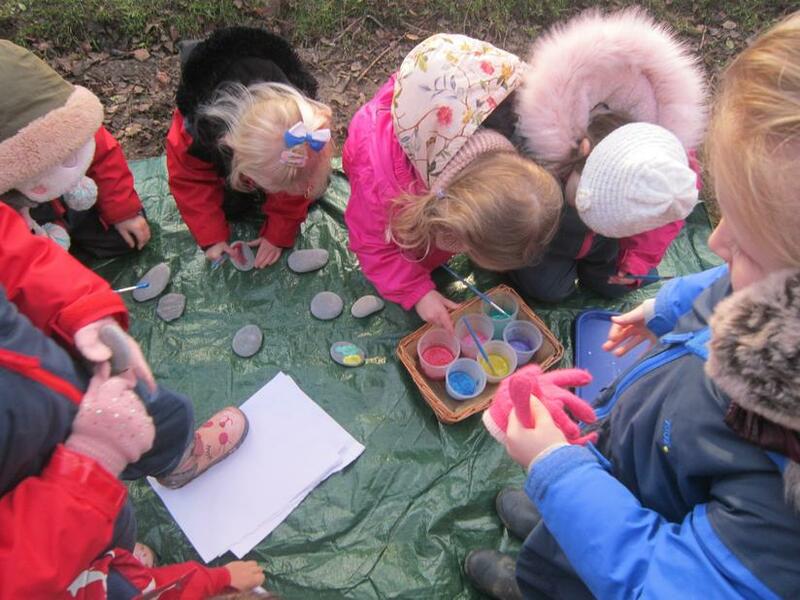 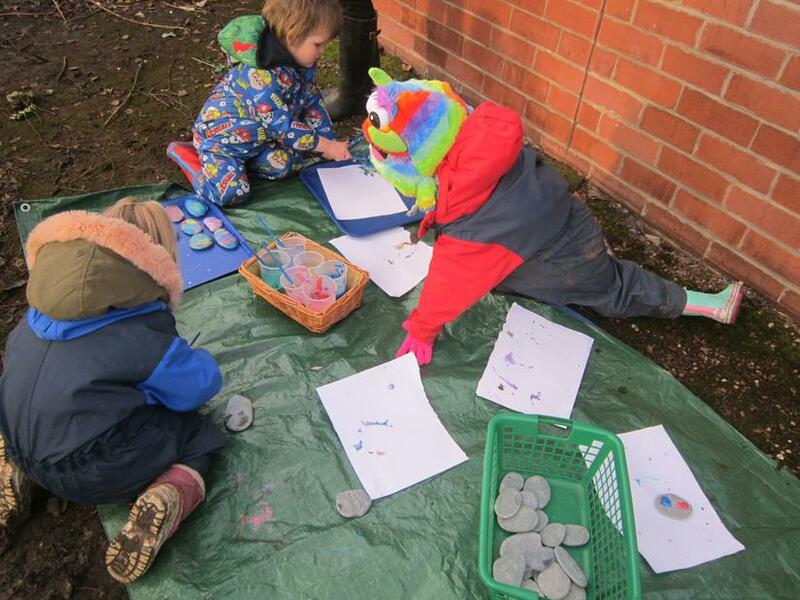 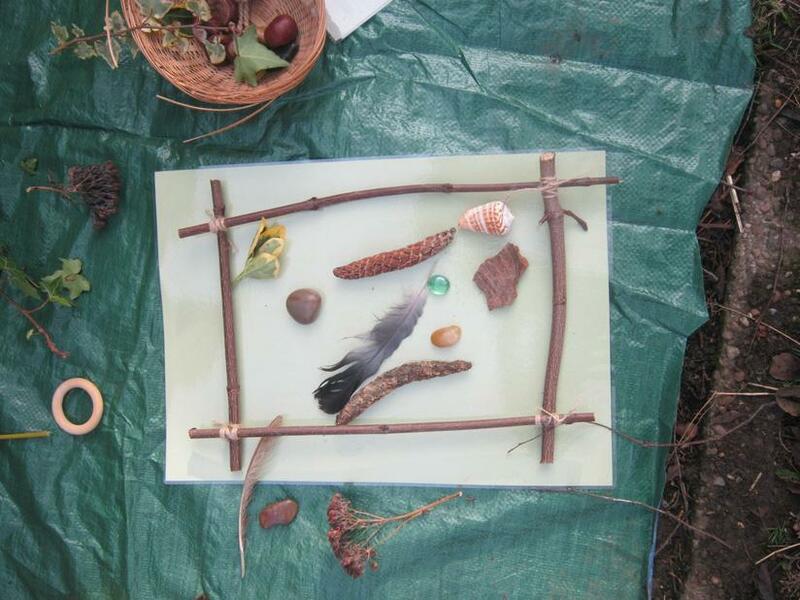 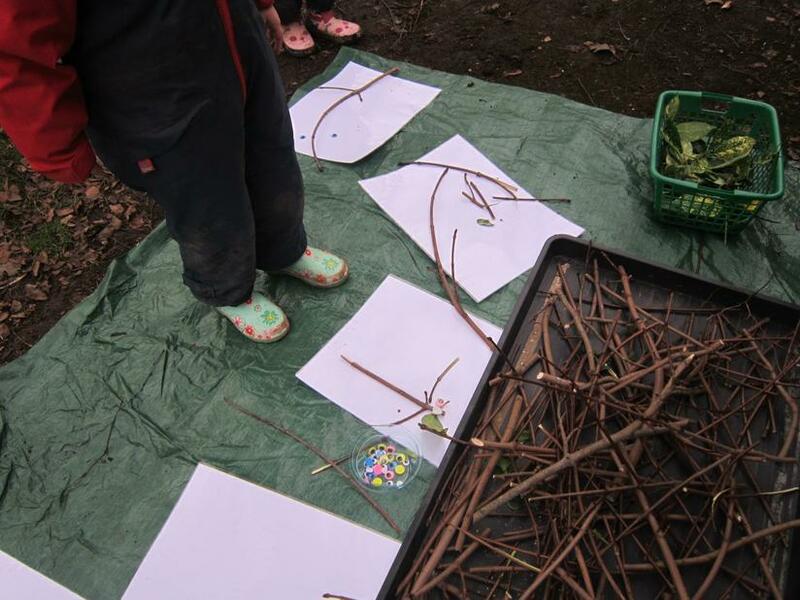 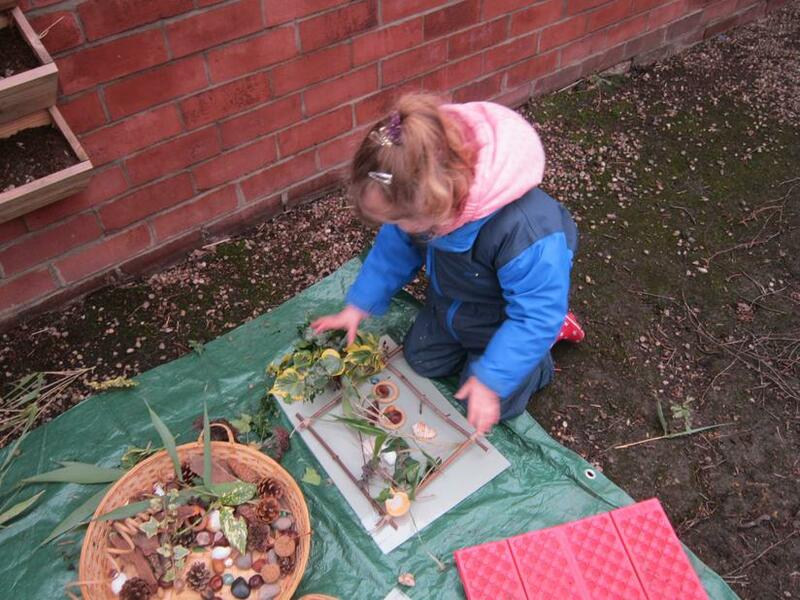 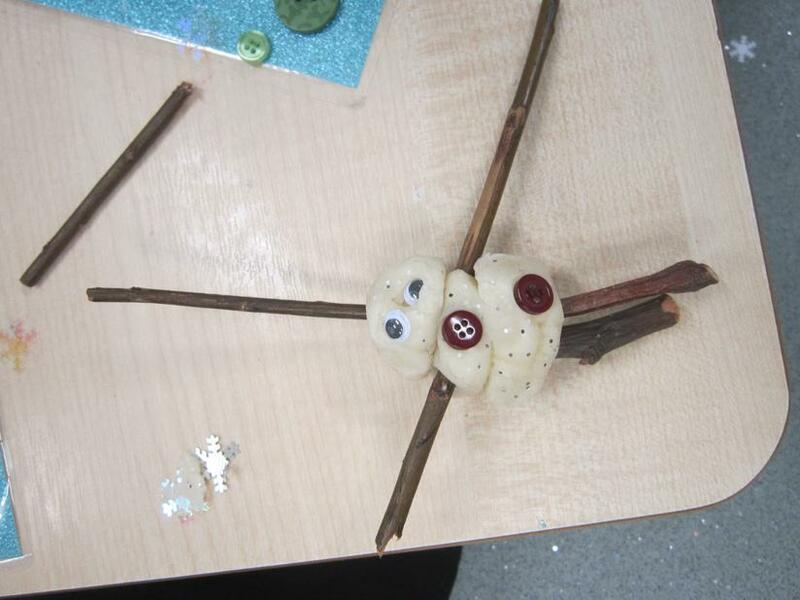 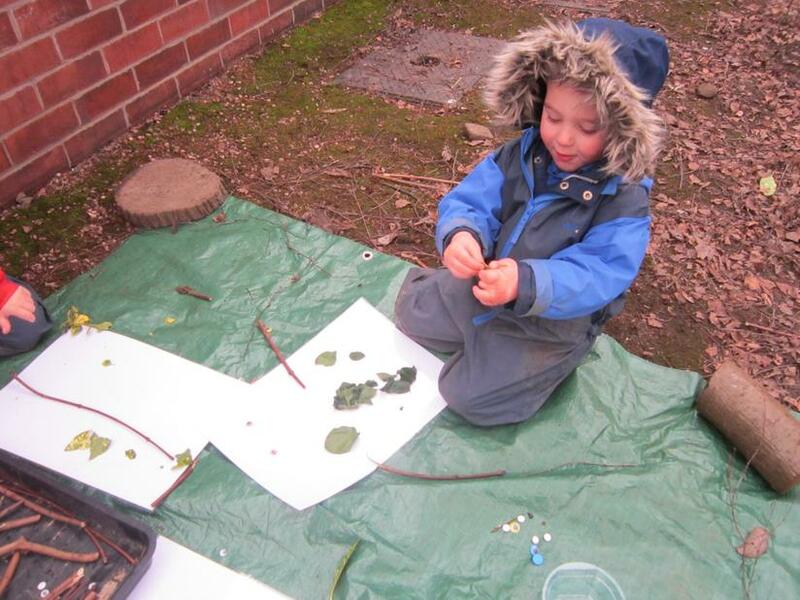 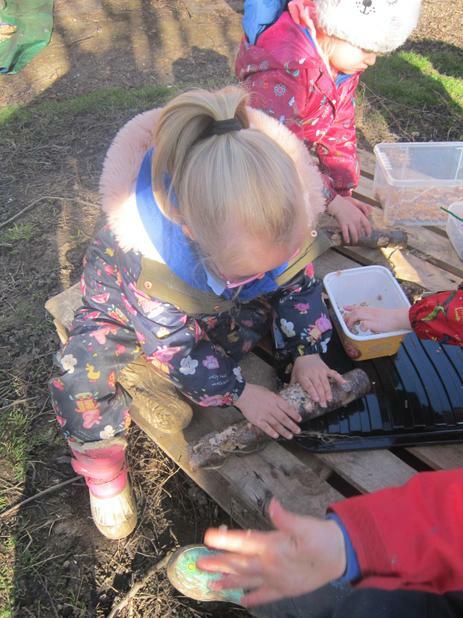 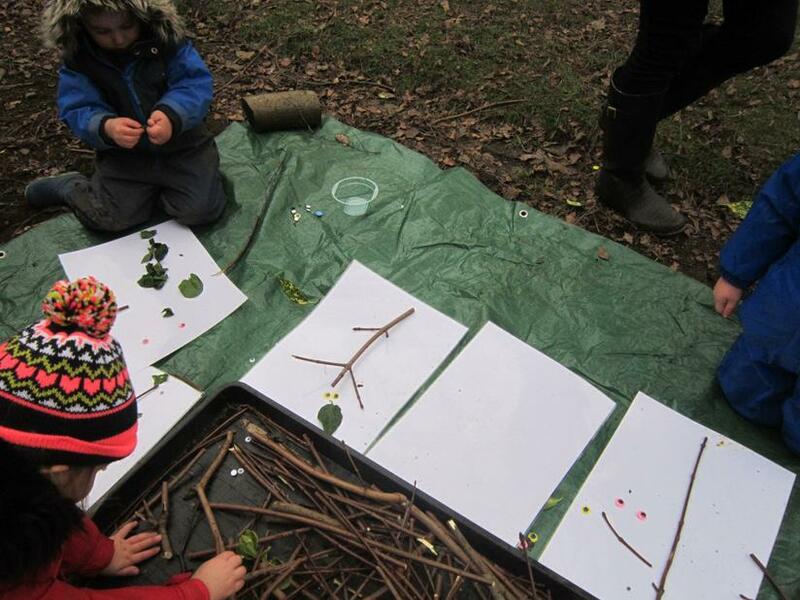 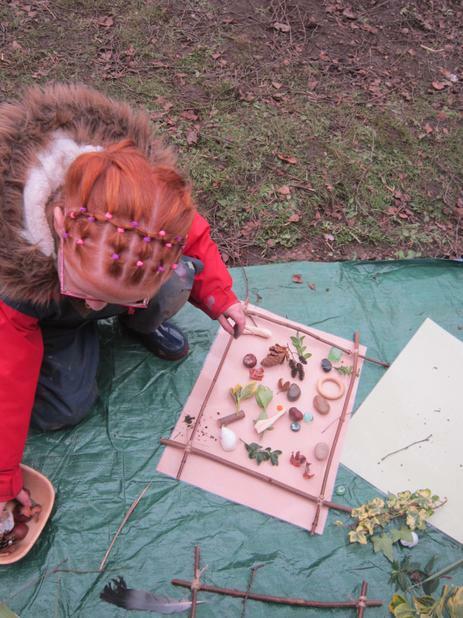 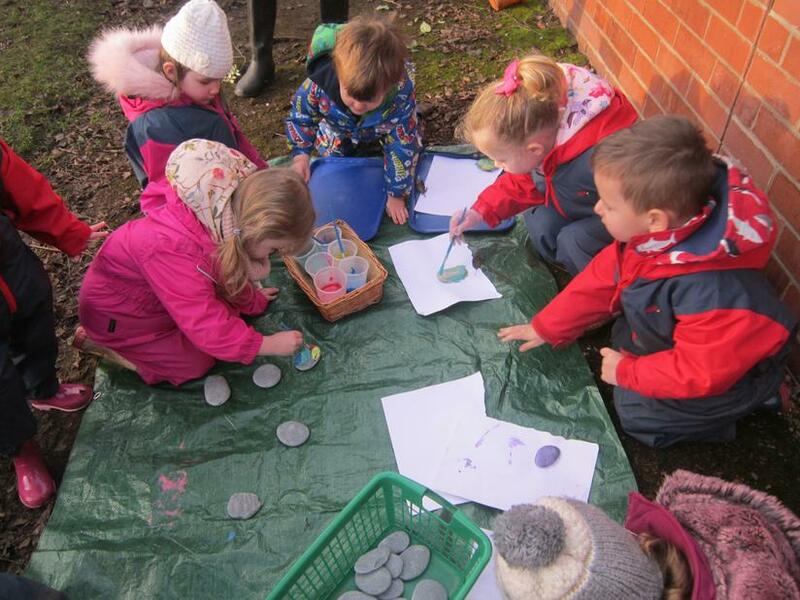 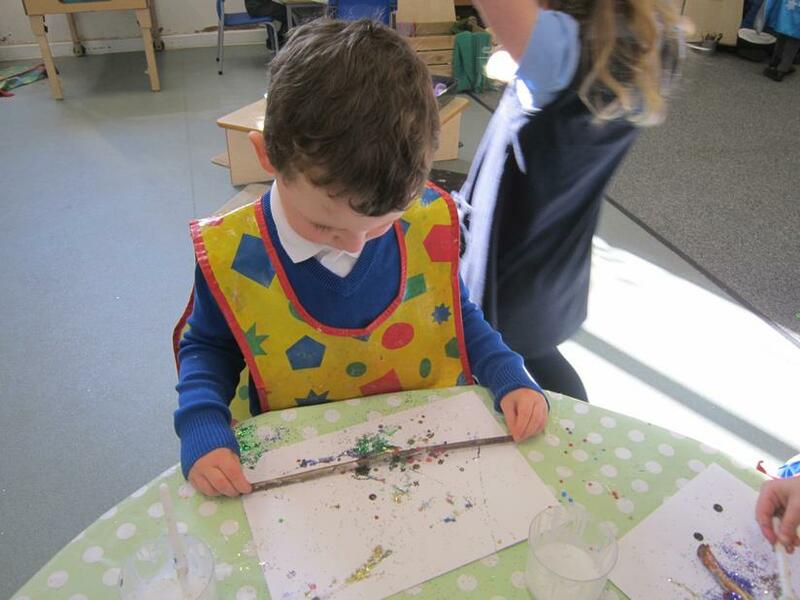 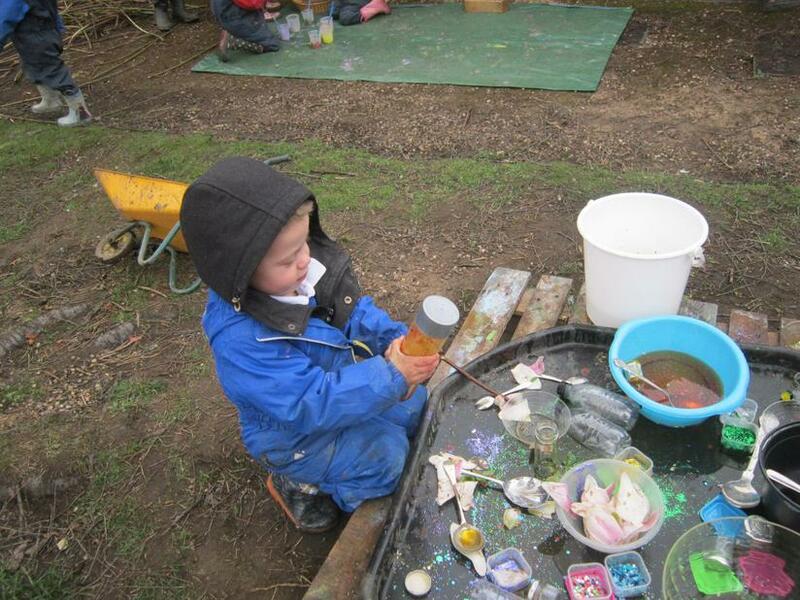 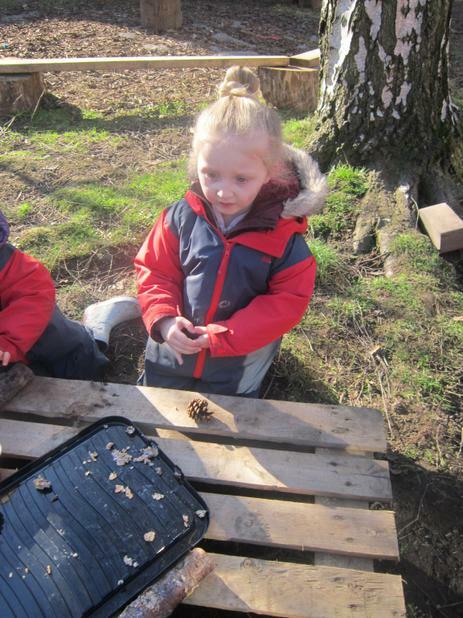 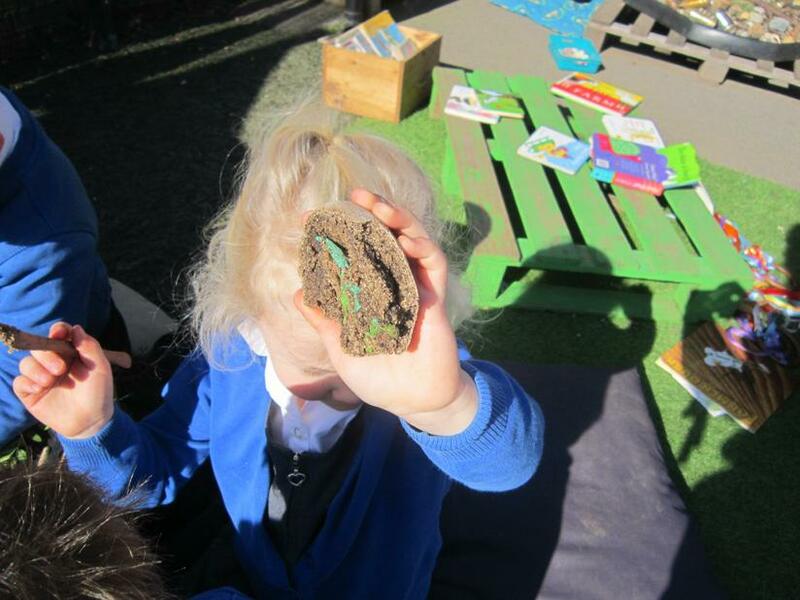 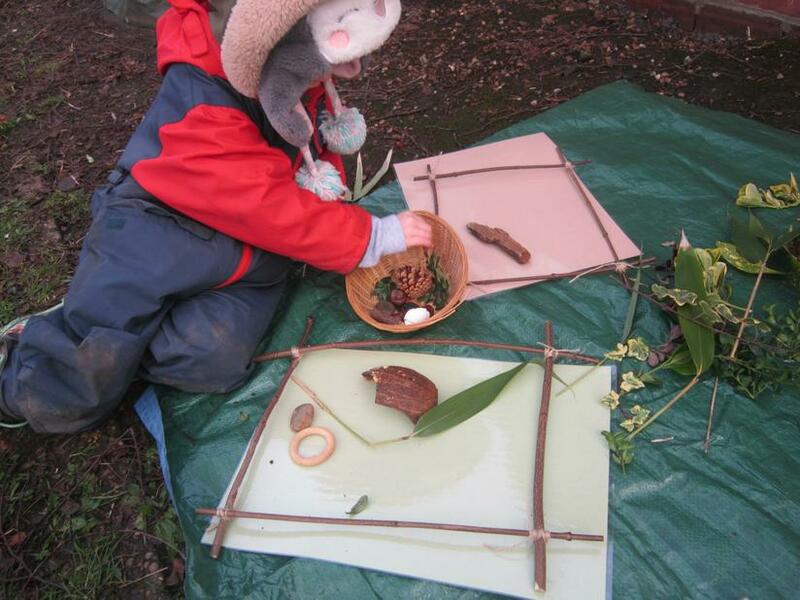 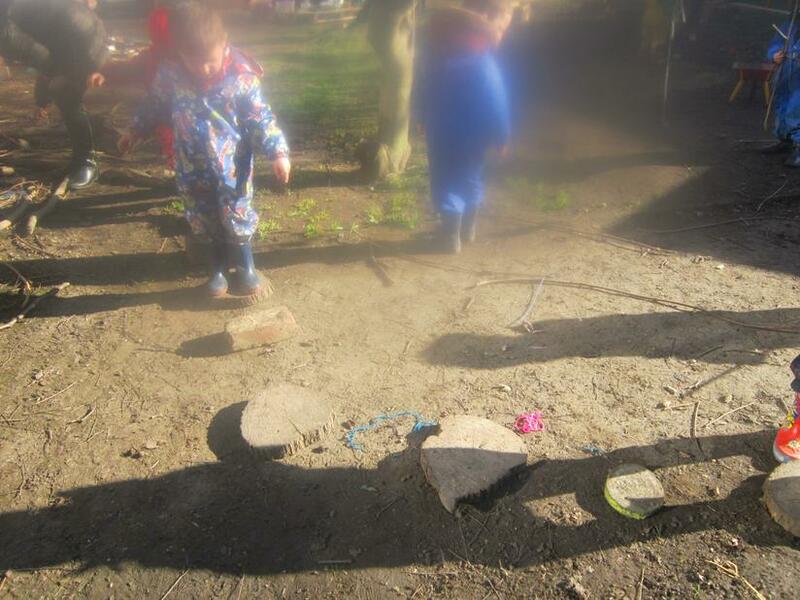 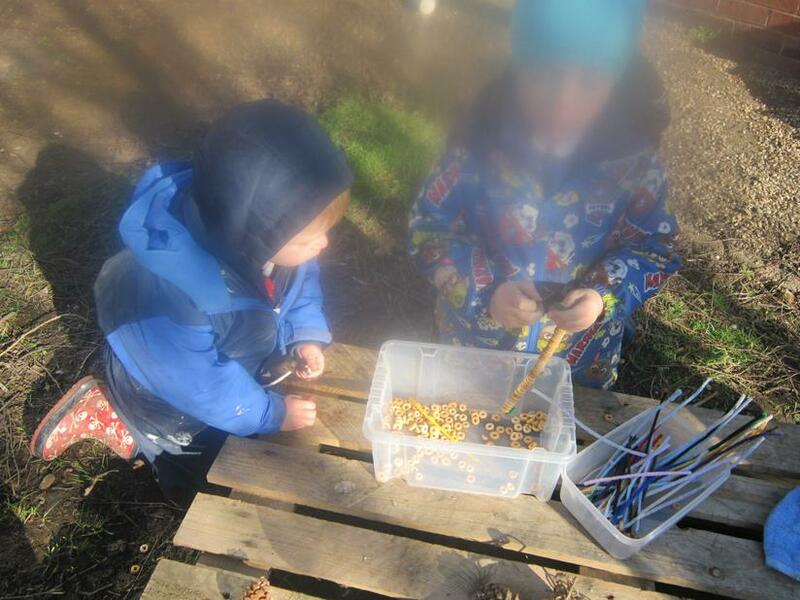 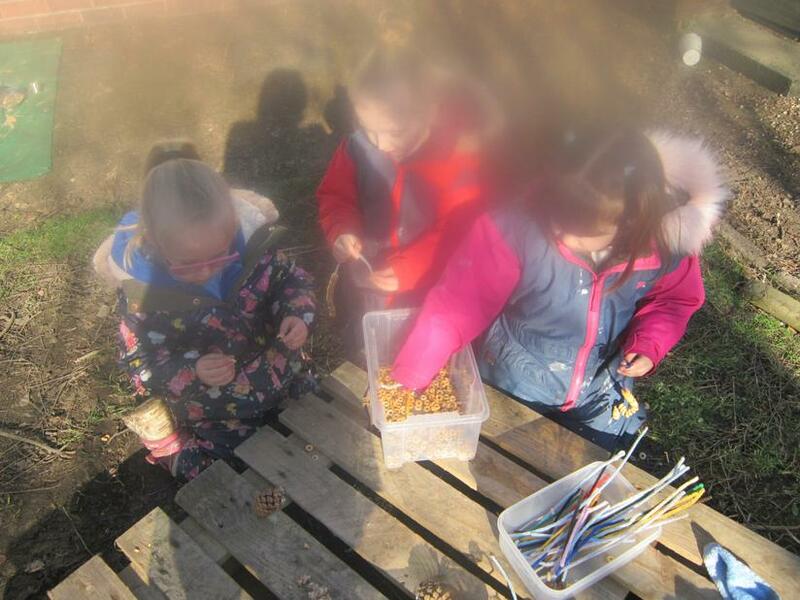 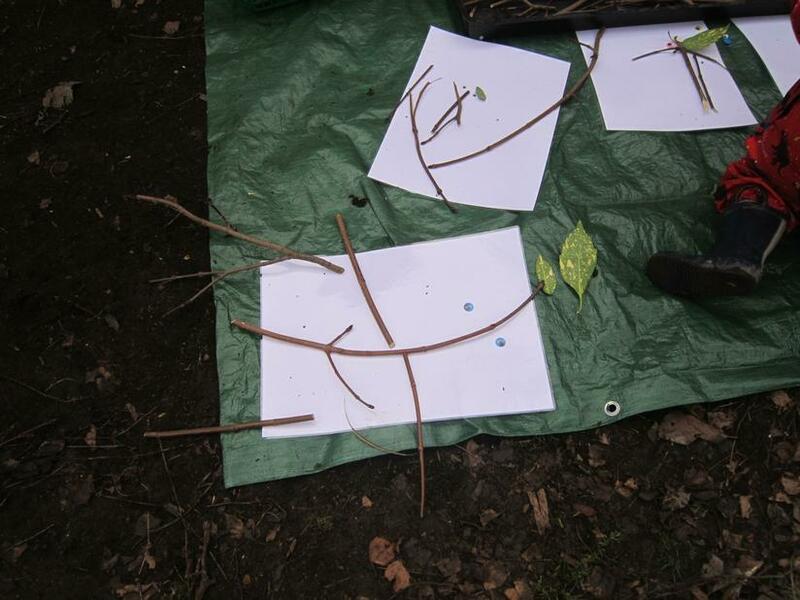 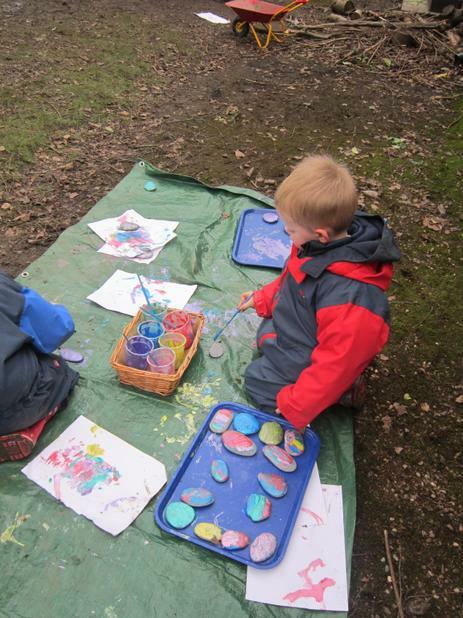 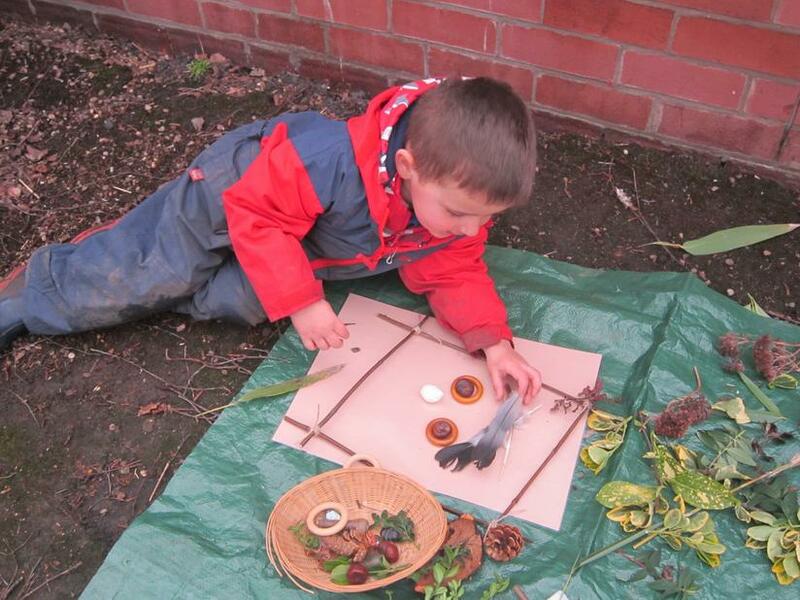 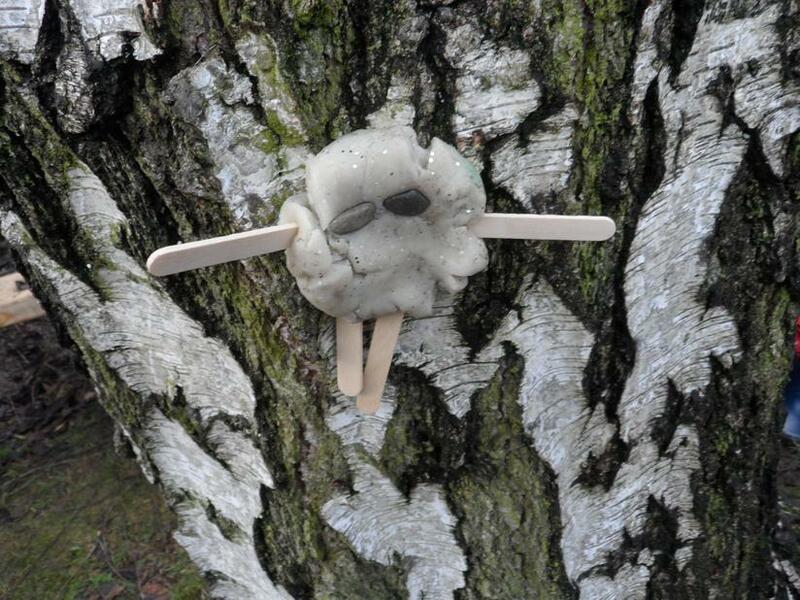 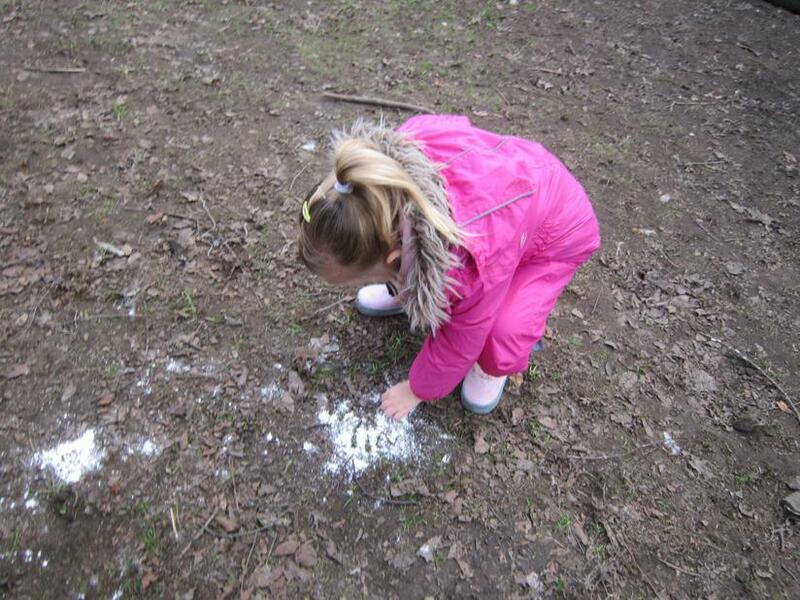 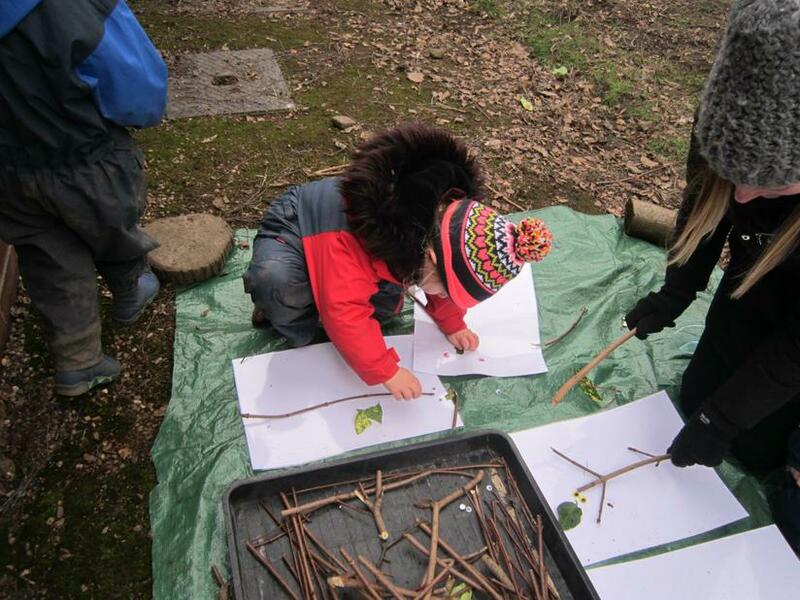 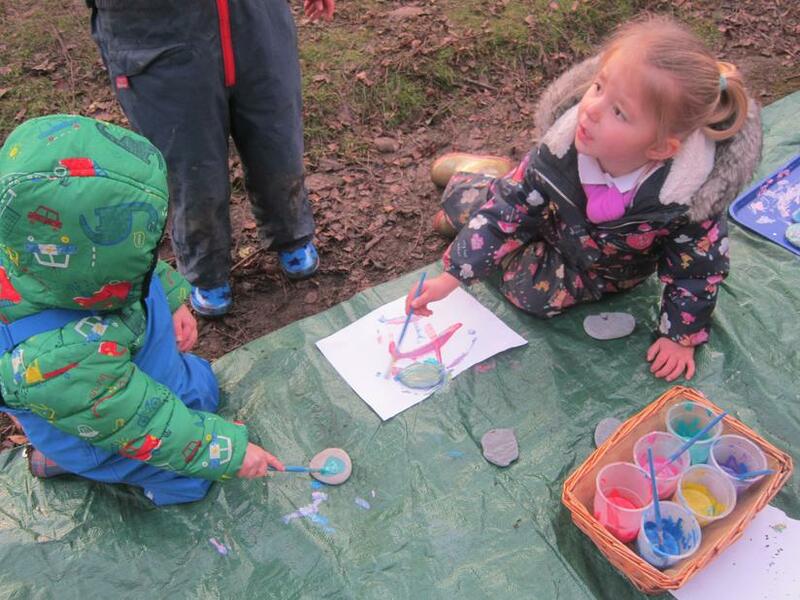 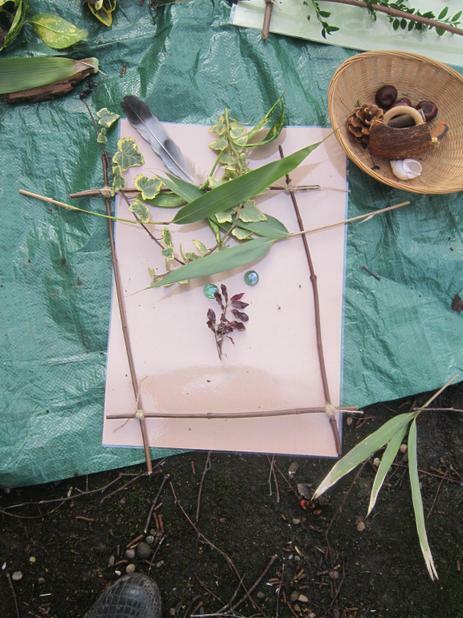 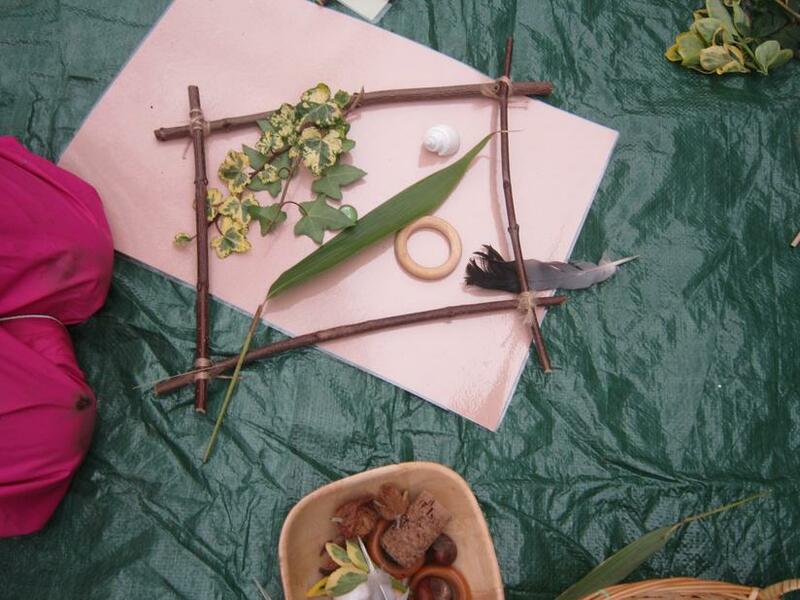 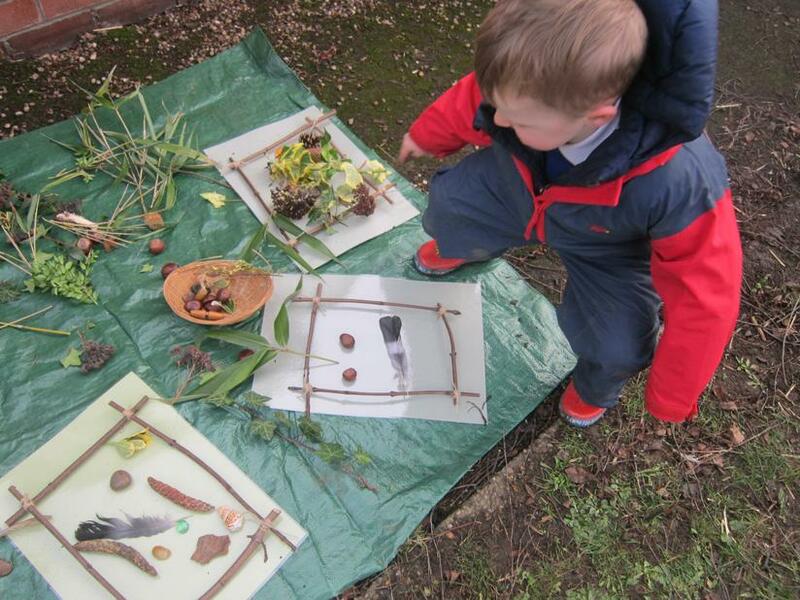 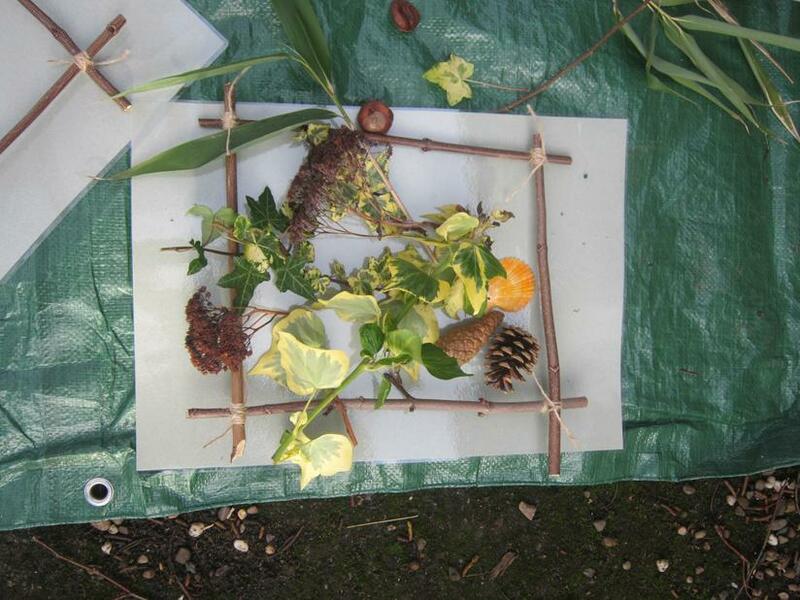 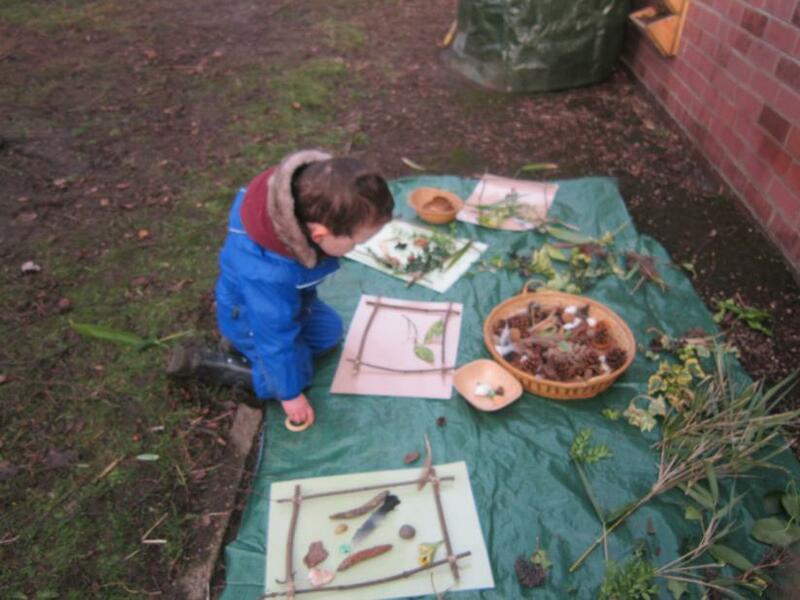 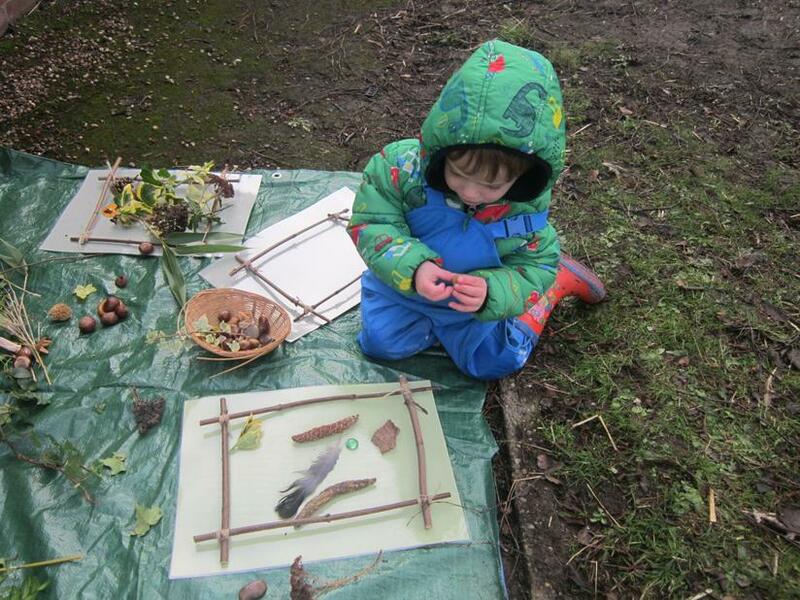 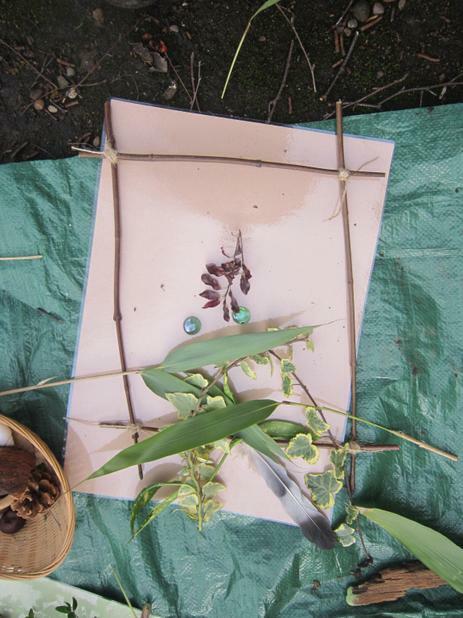 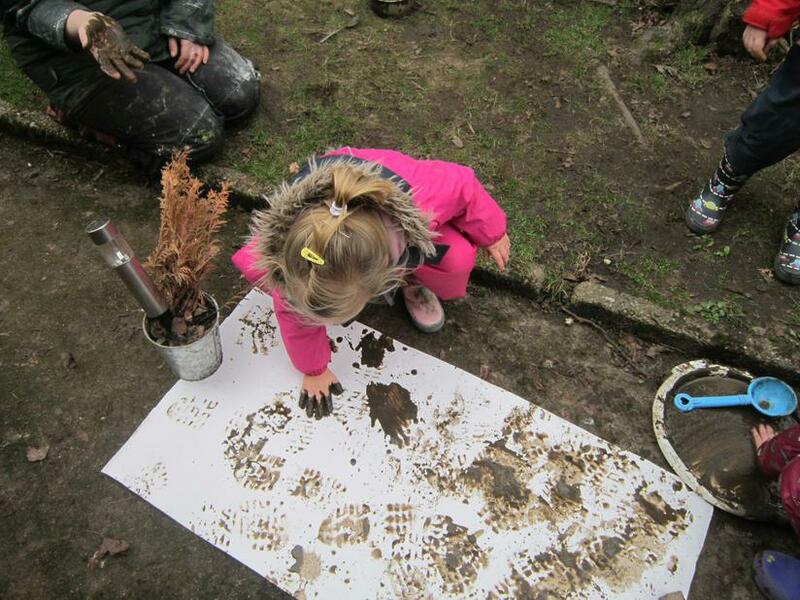 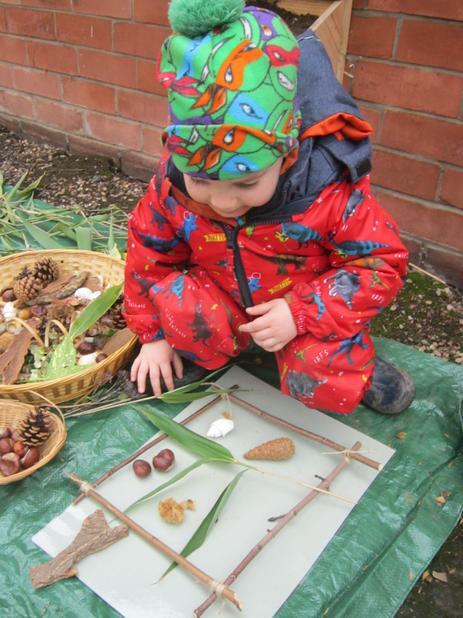 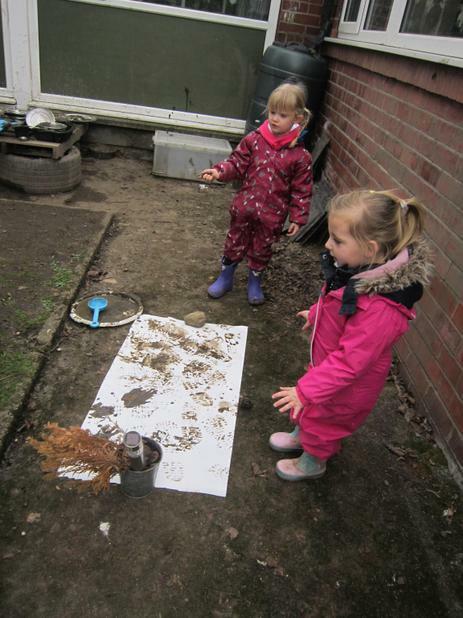 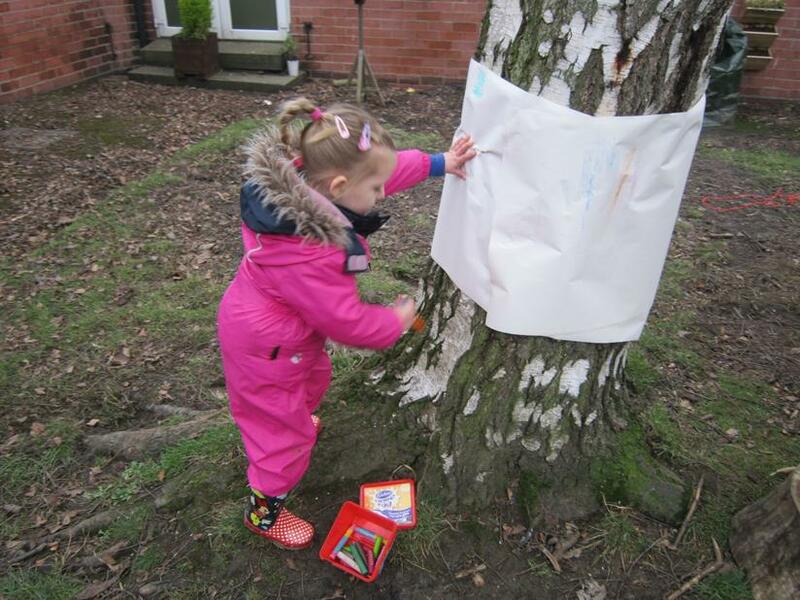 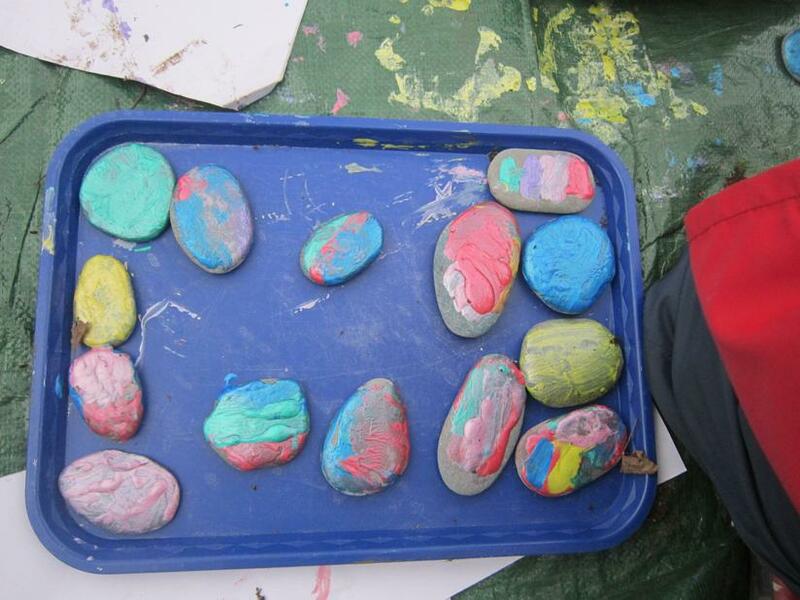 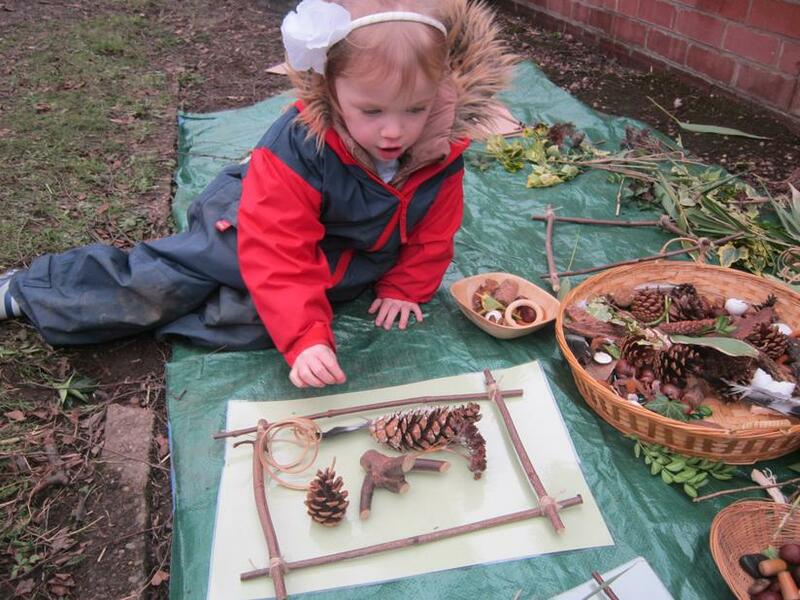 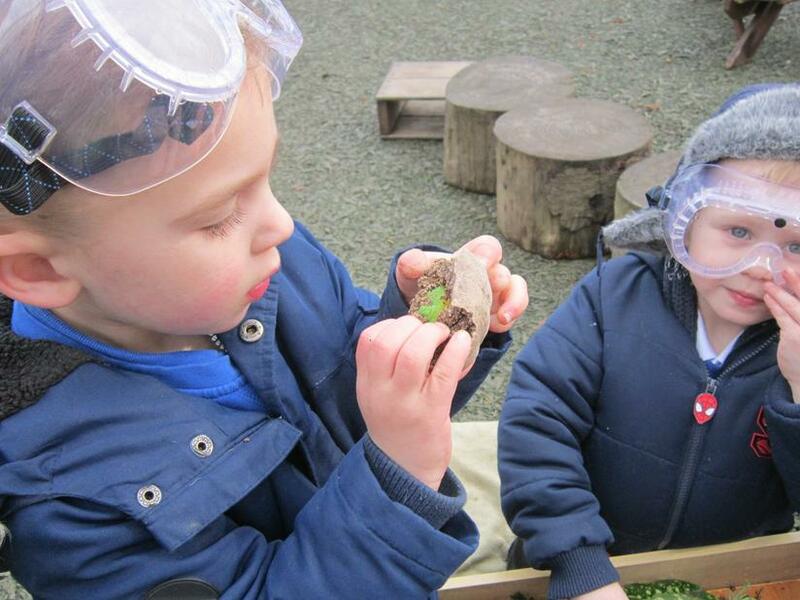 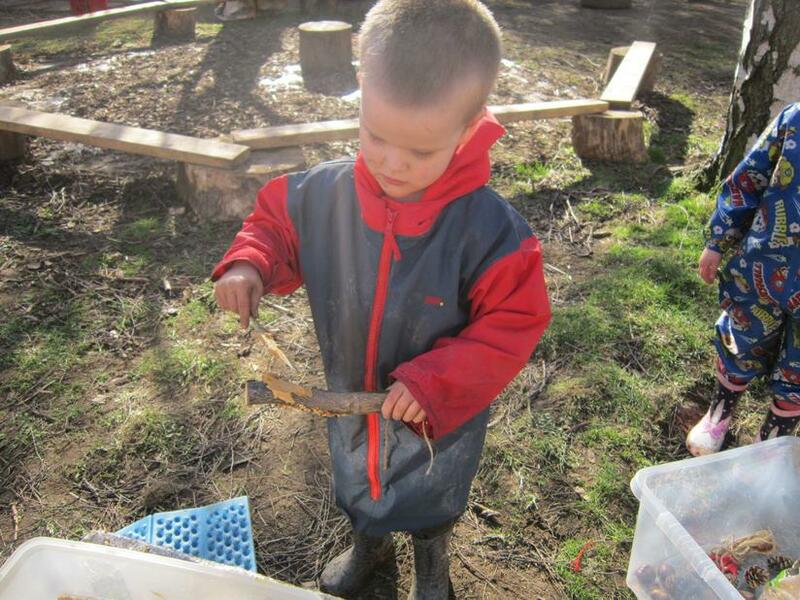 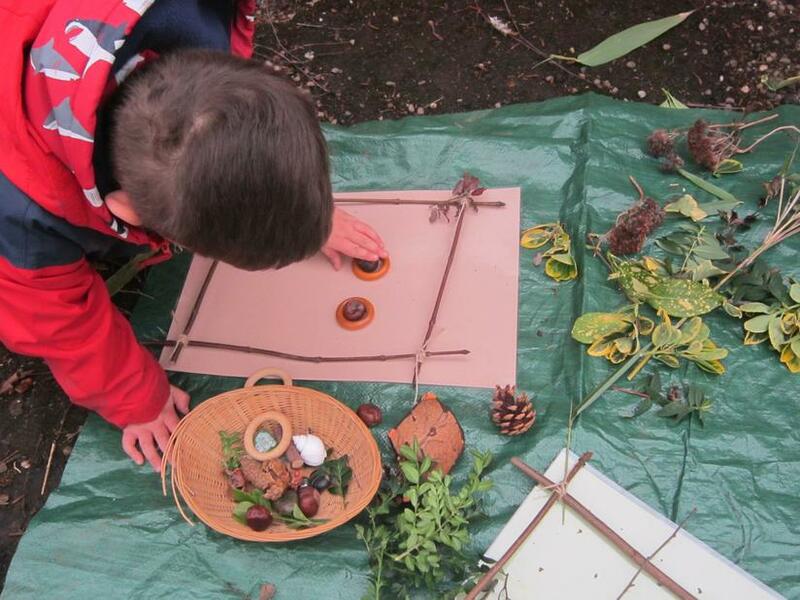 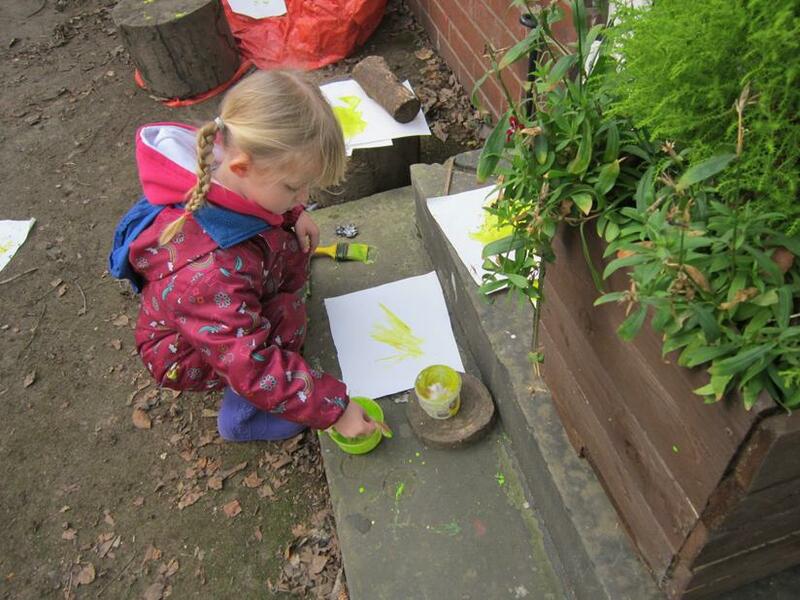 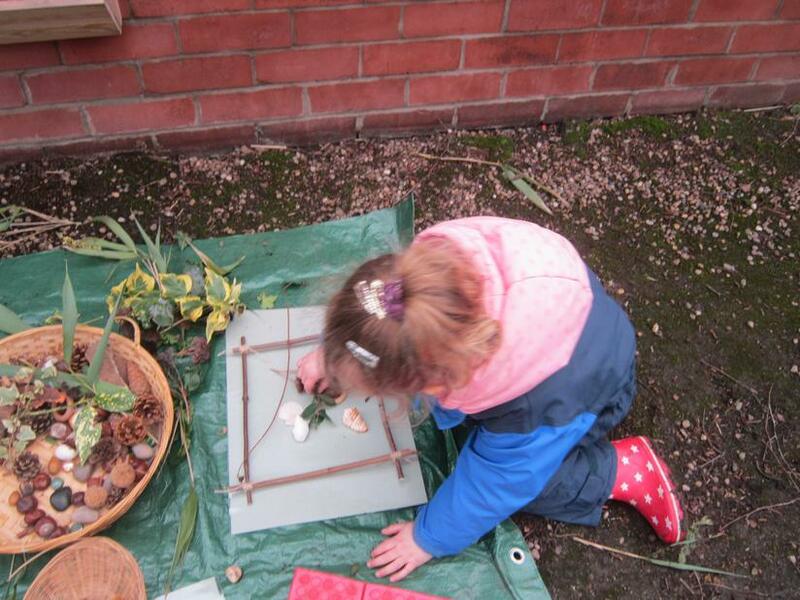 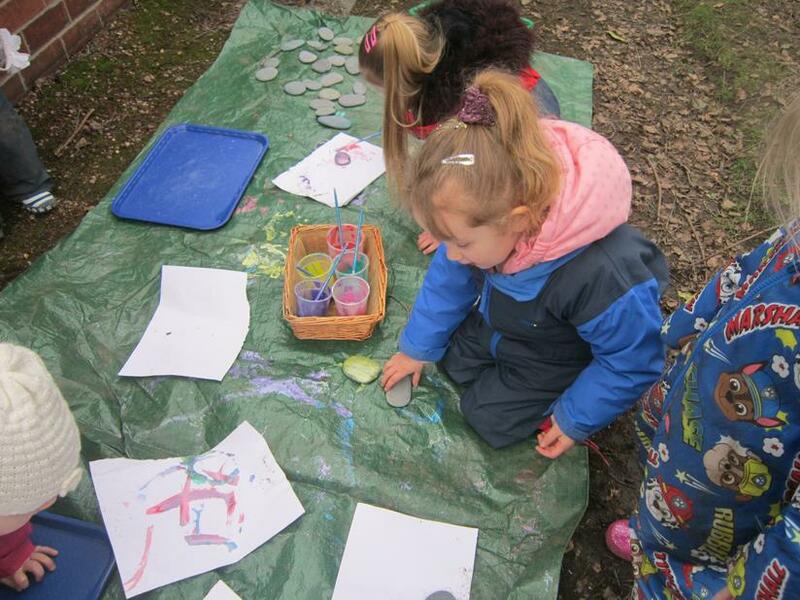 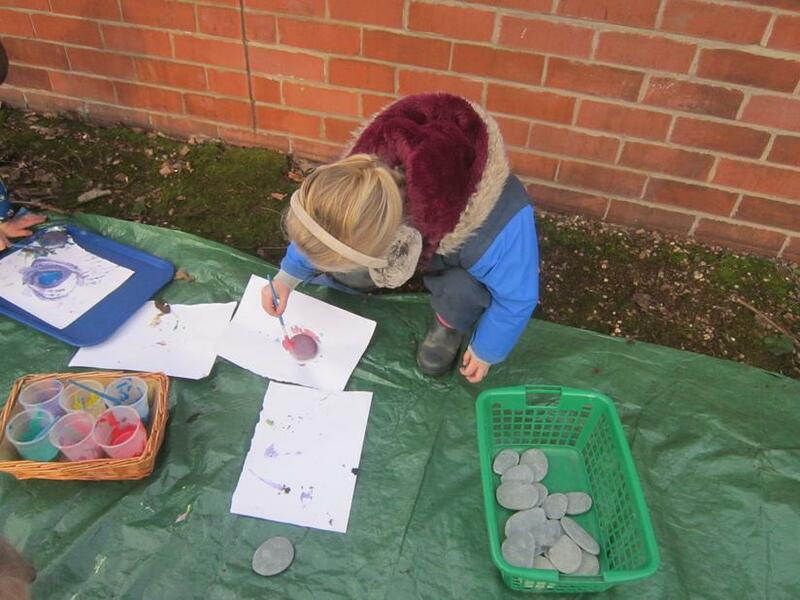 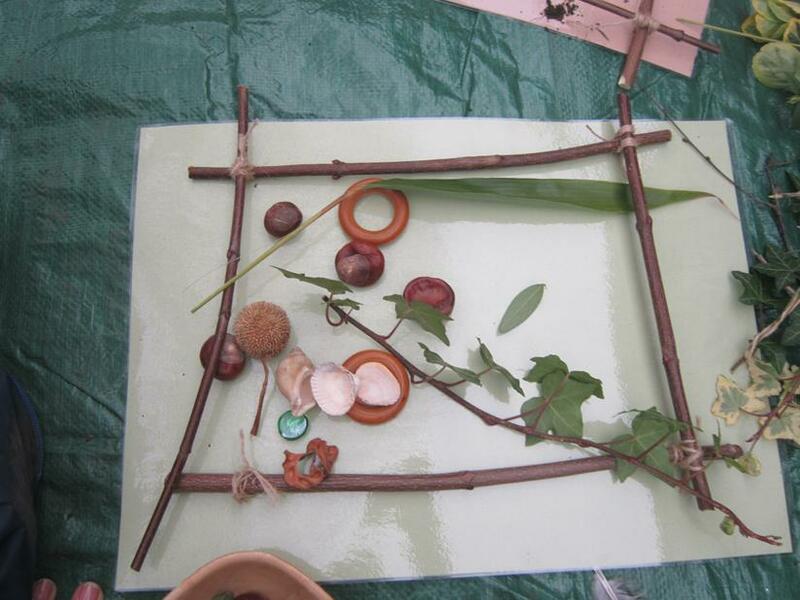 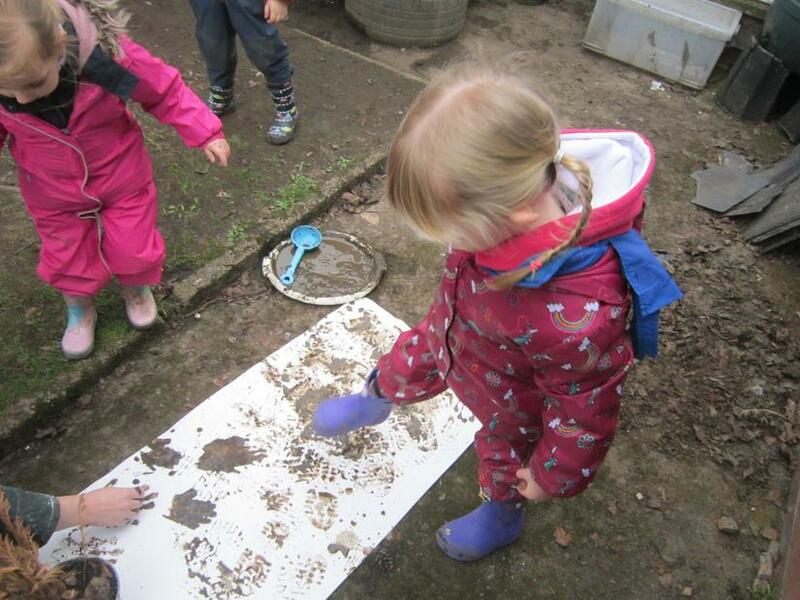 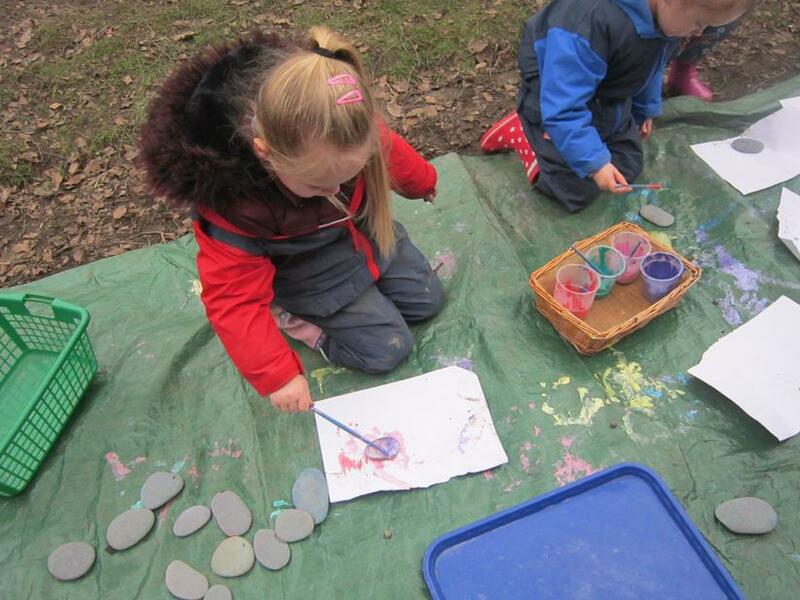 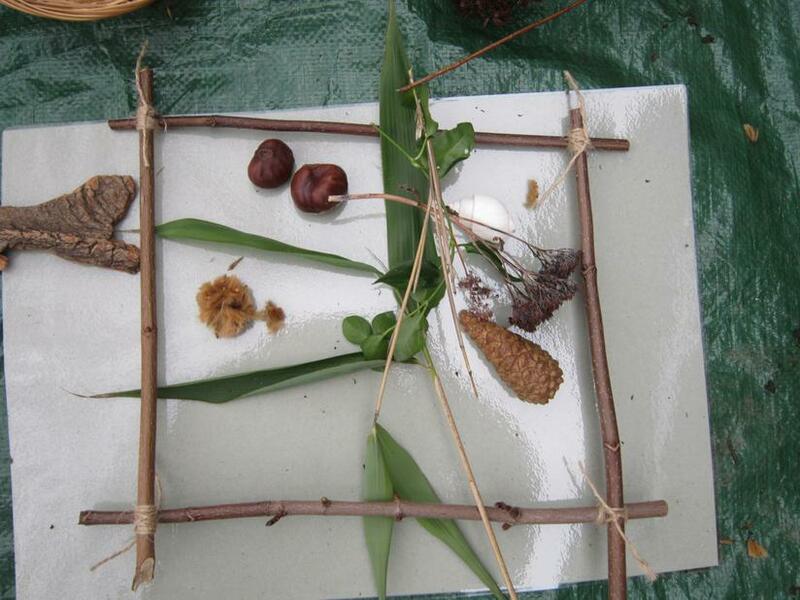 Forest school - Making natural pictures and painting pebbles. 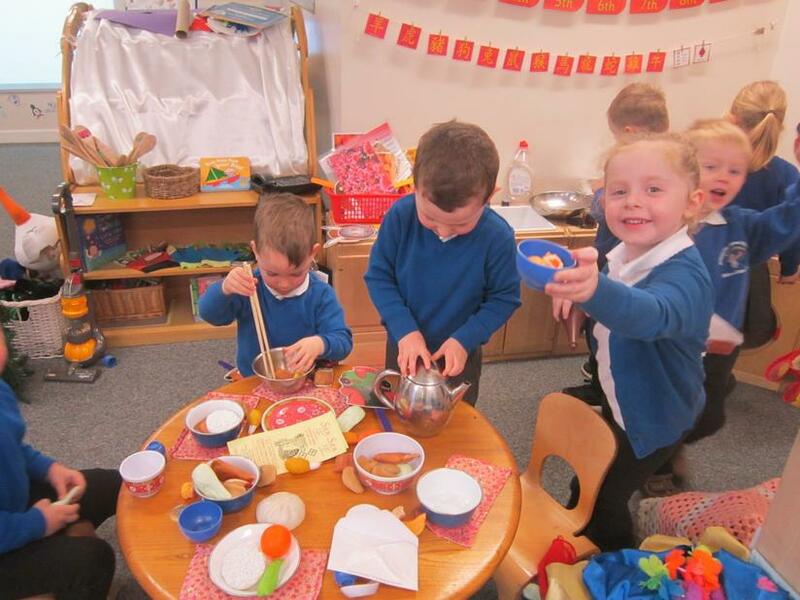 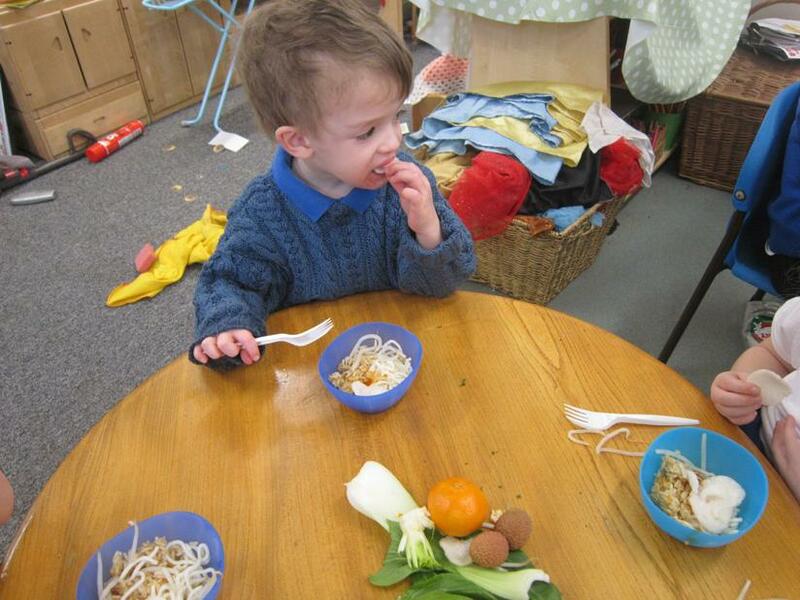 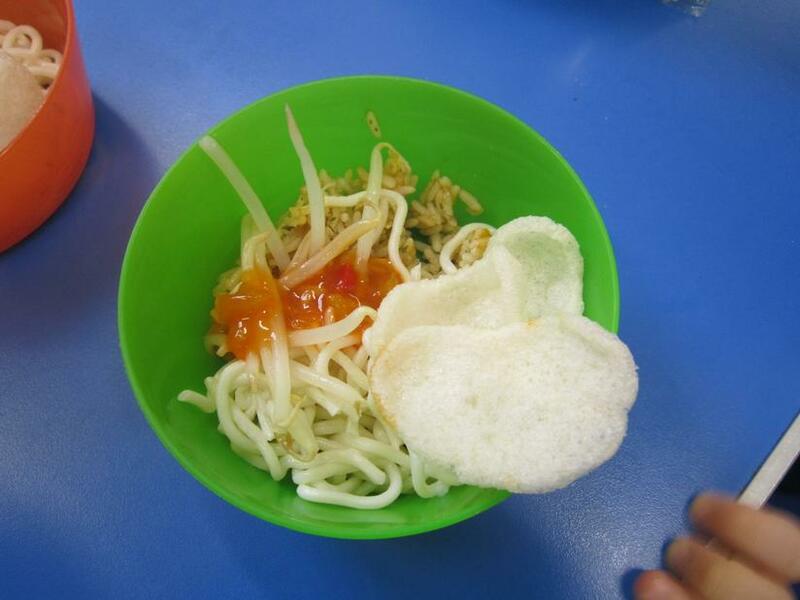 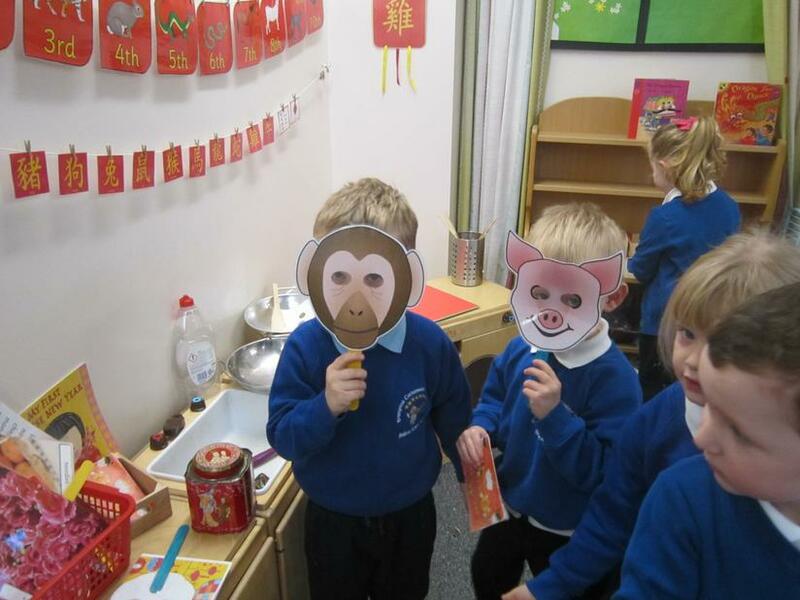 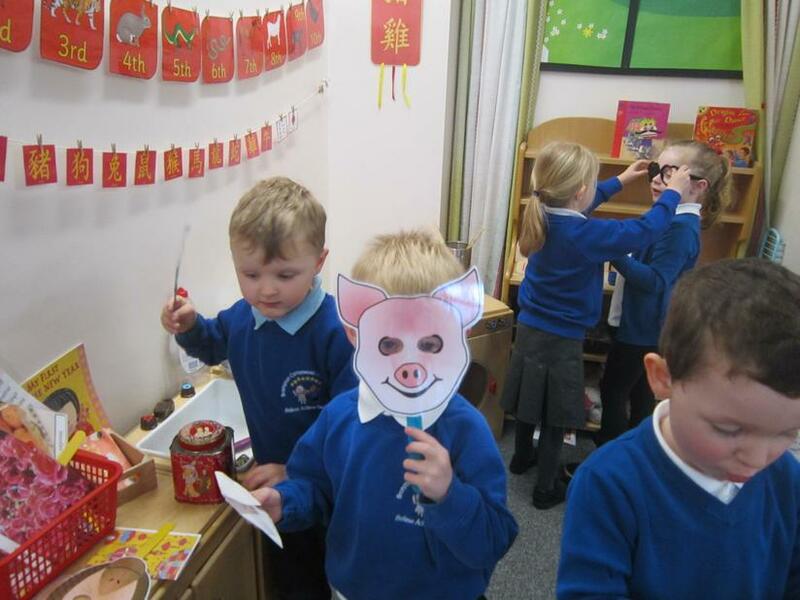 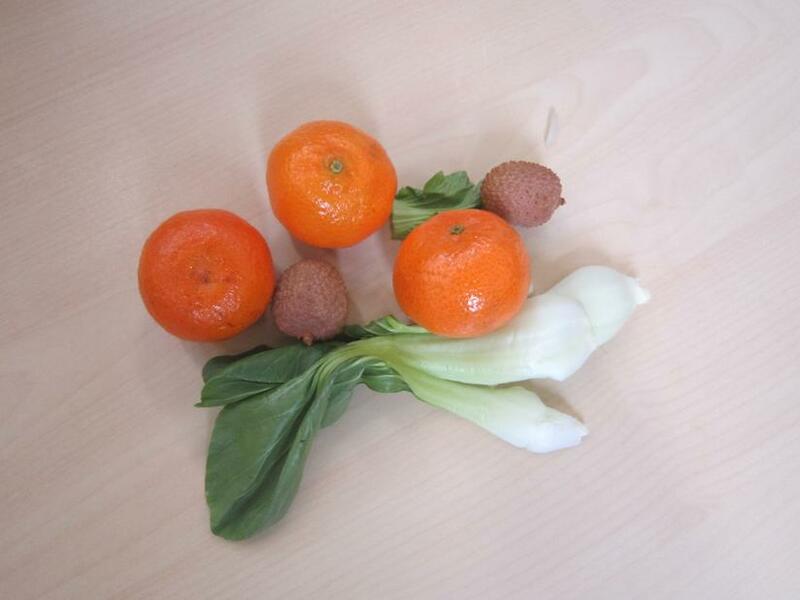 Chinese New Year and tasting Chinese food. 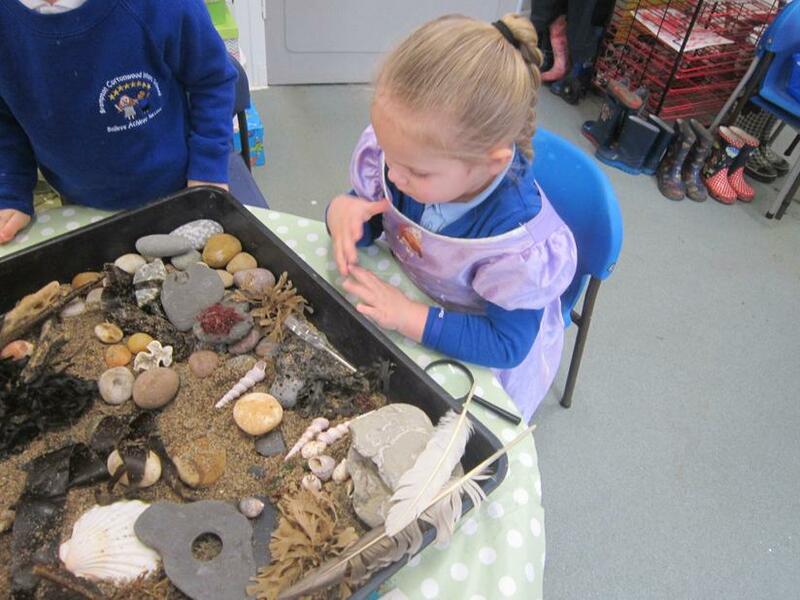 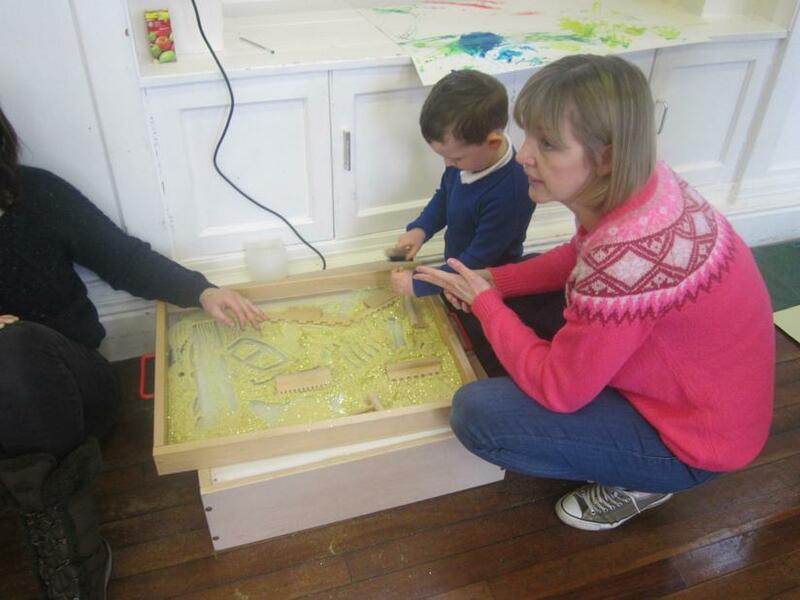 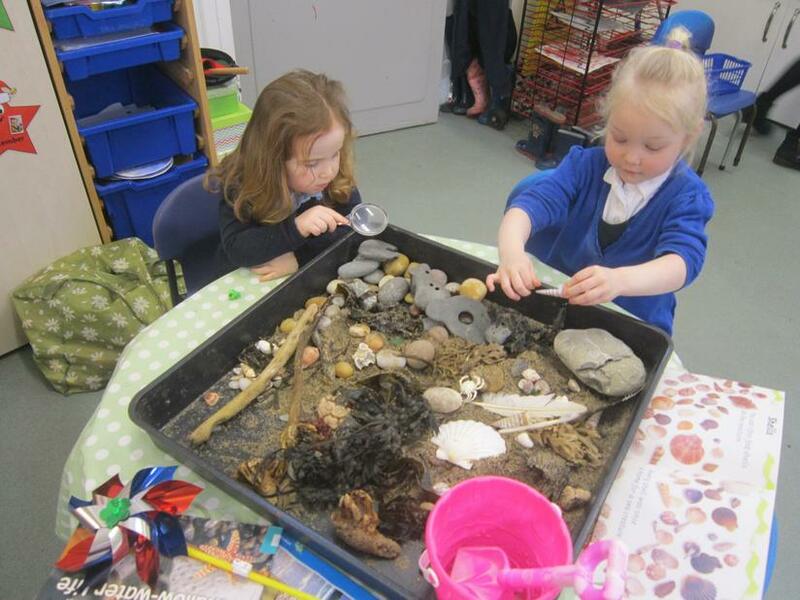 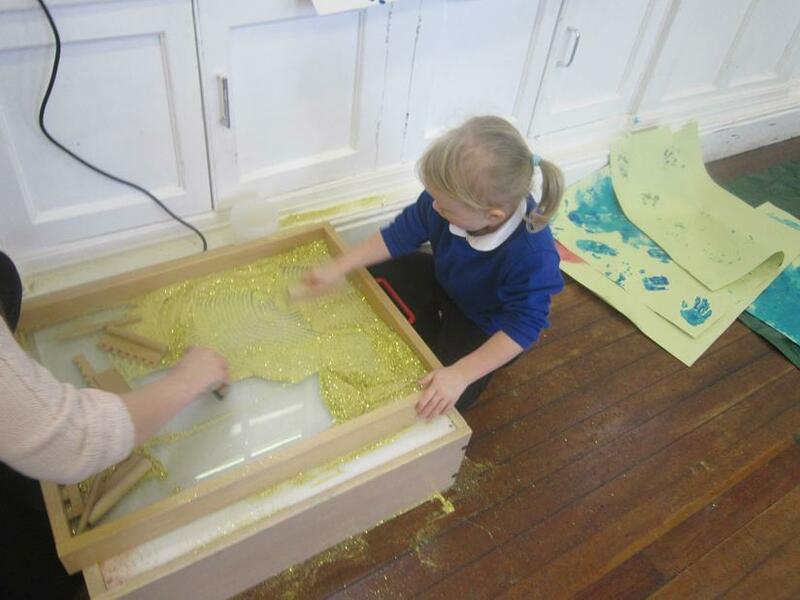 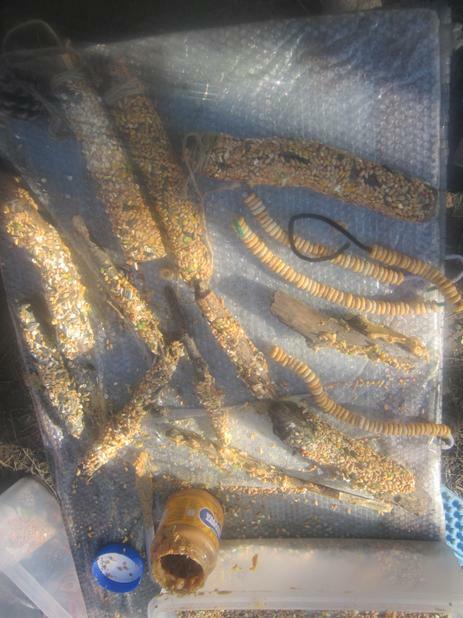 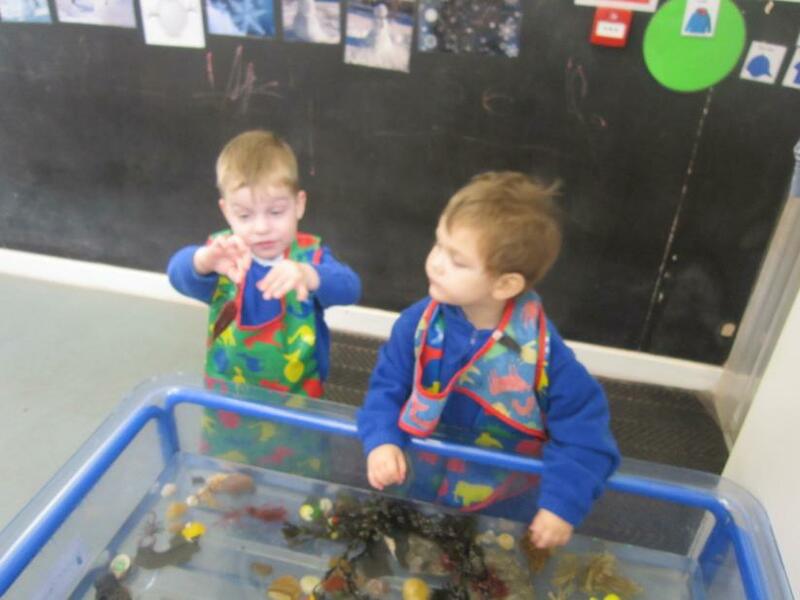 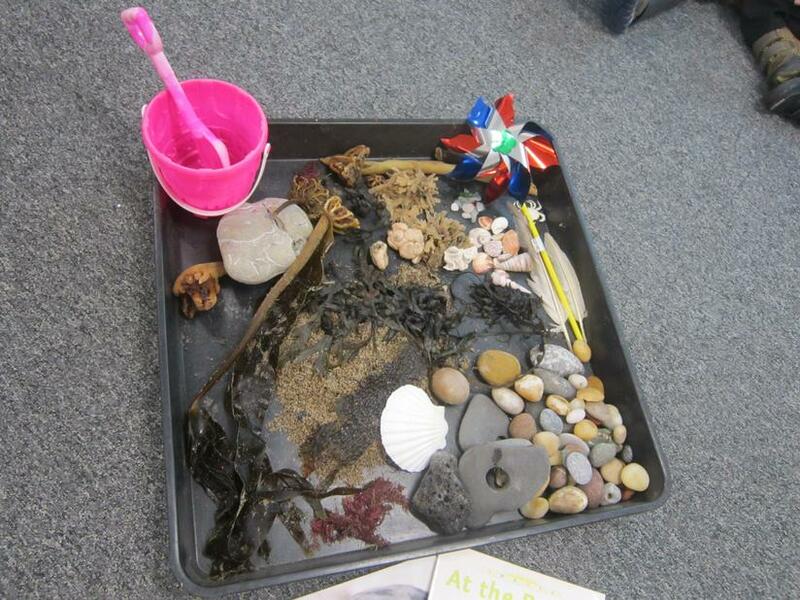 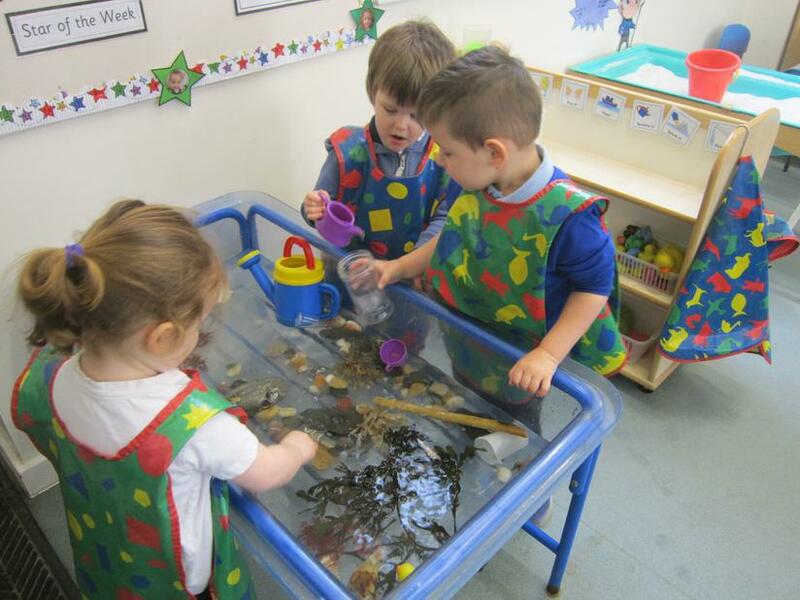 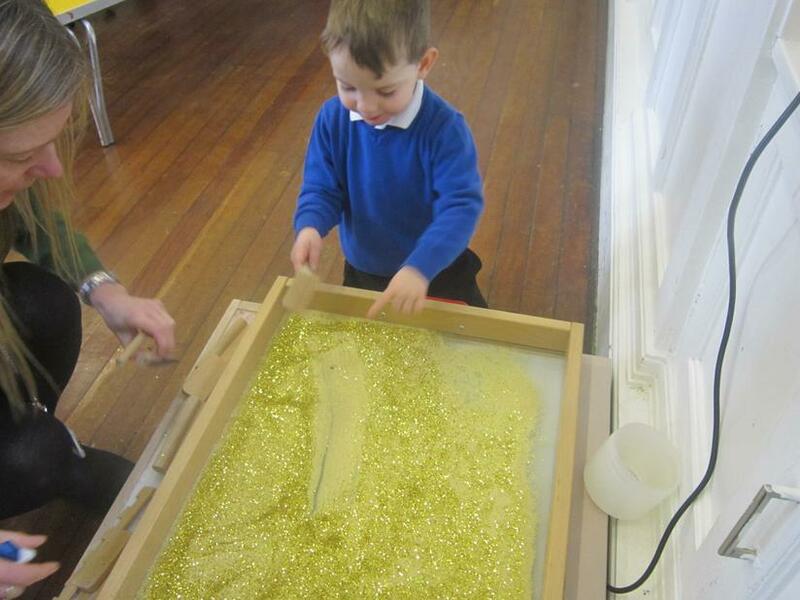 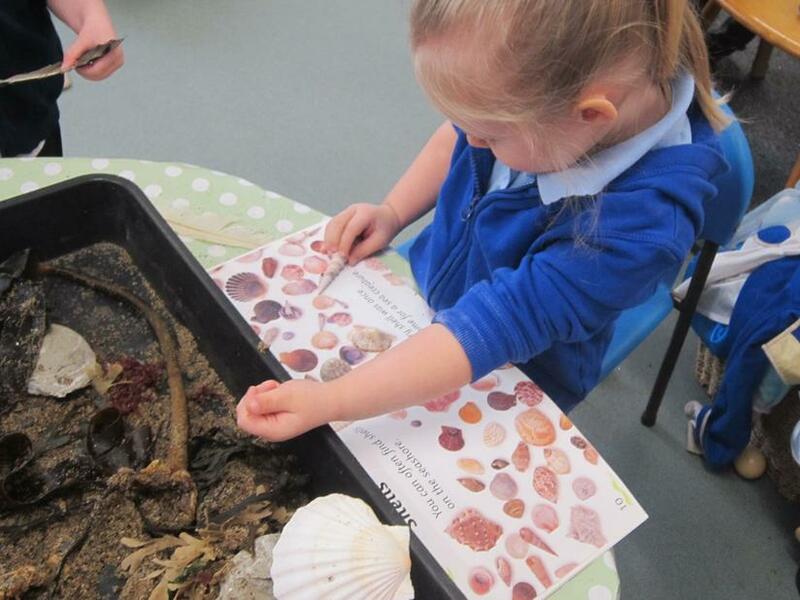 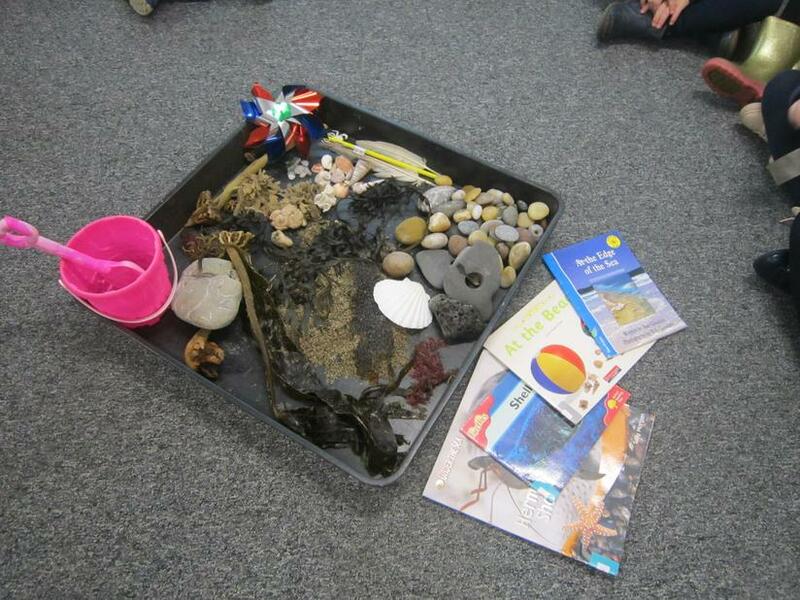 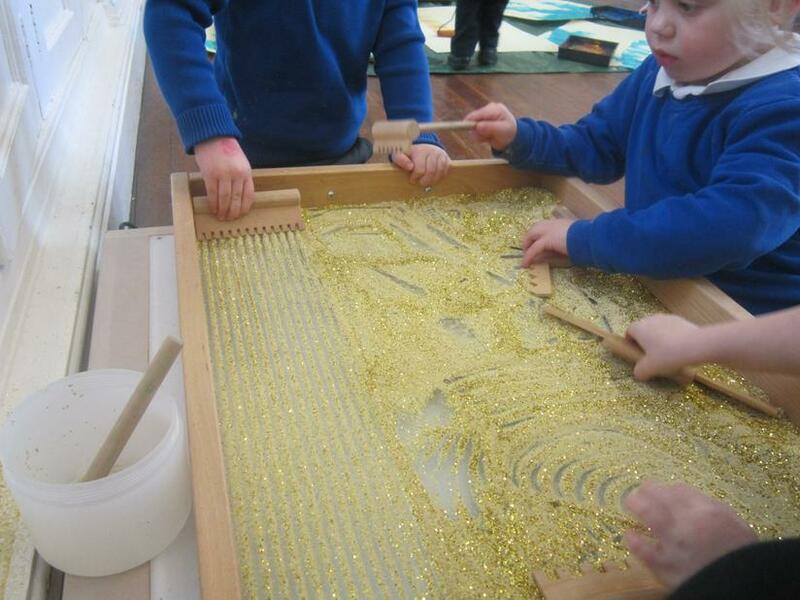 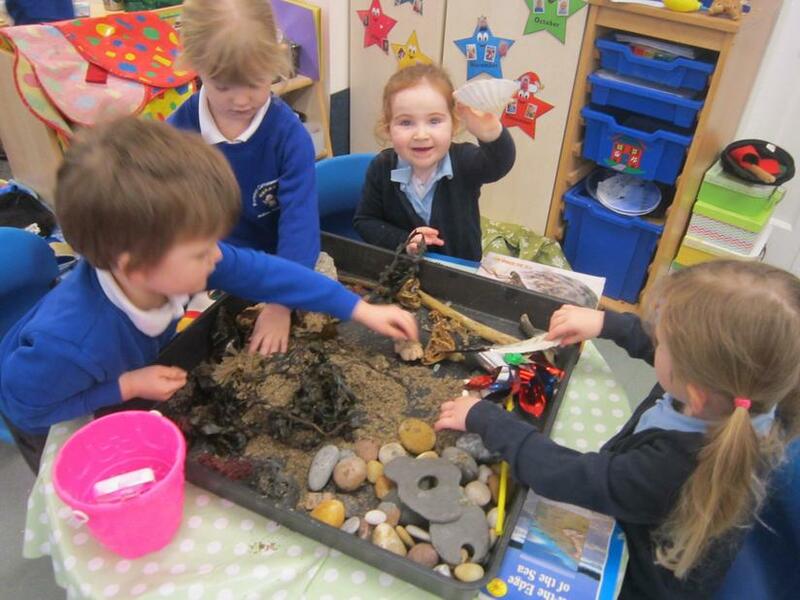 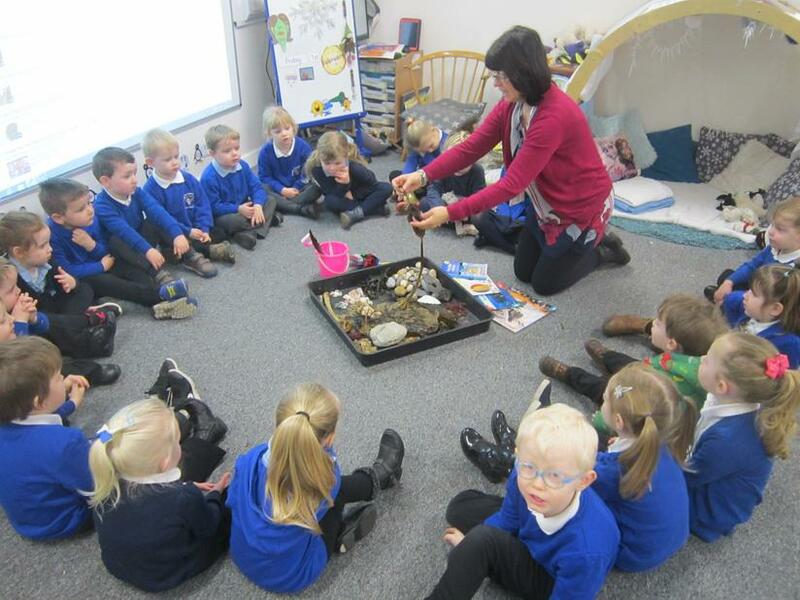 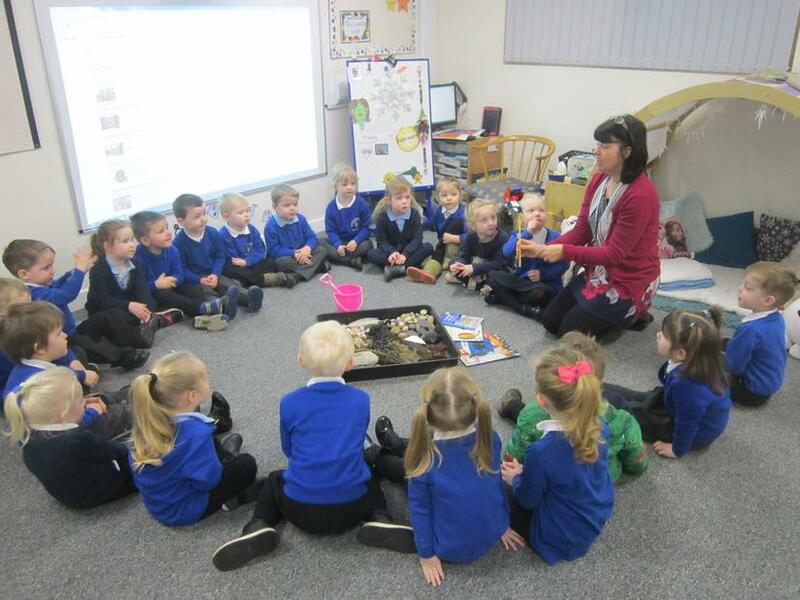 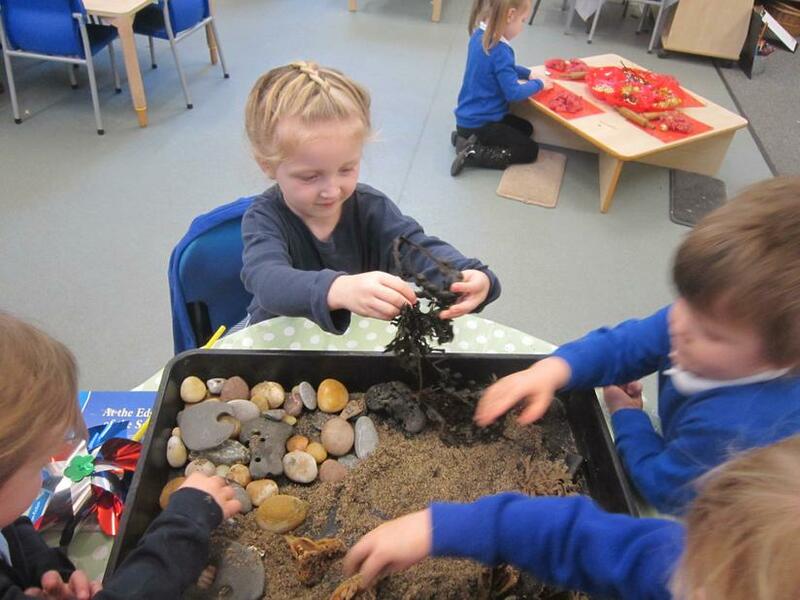 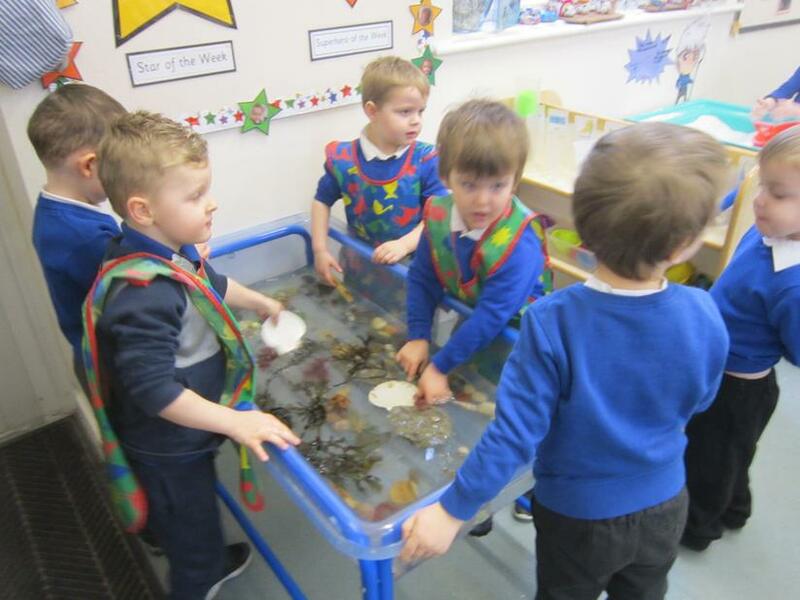 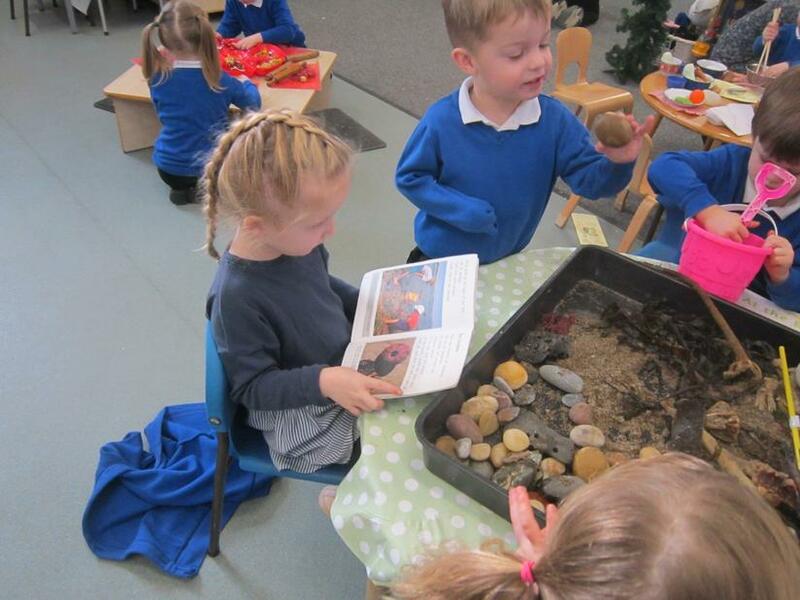 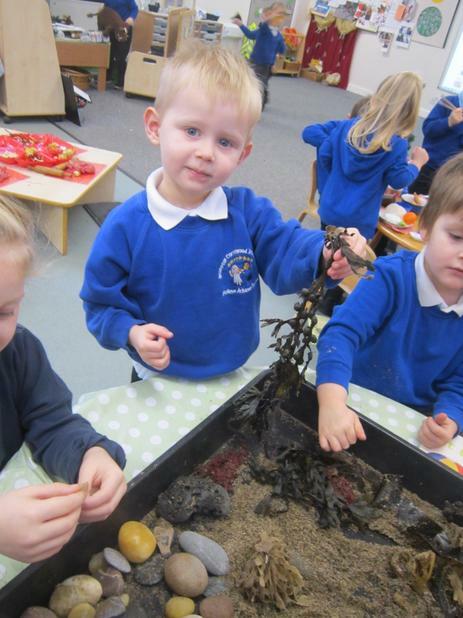 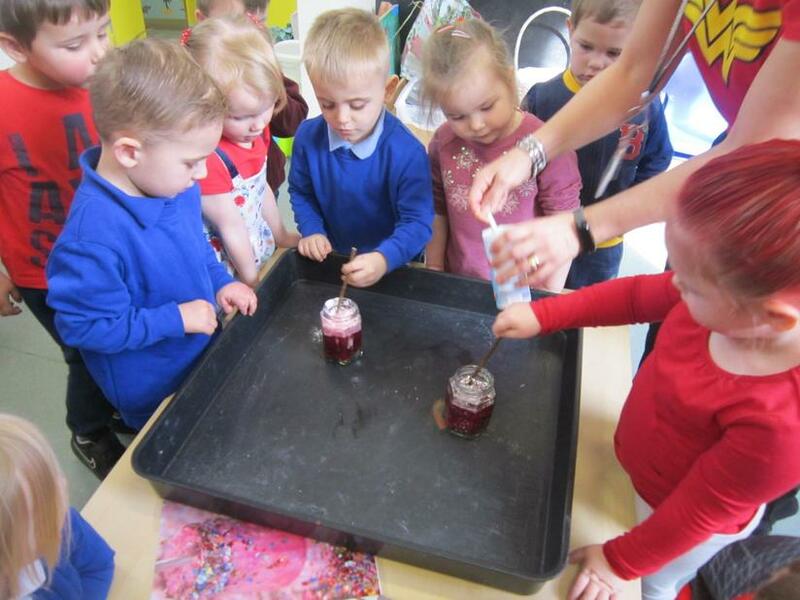 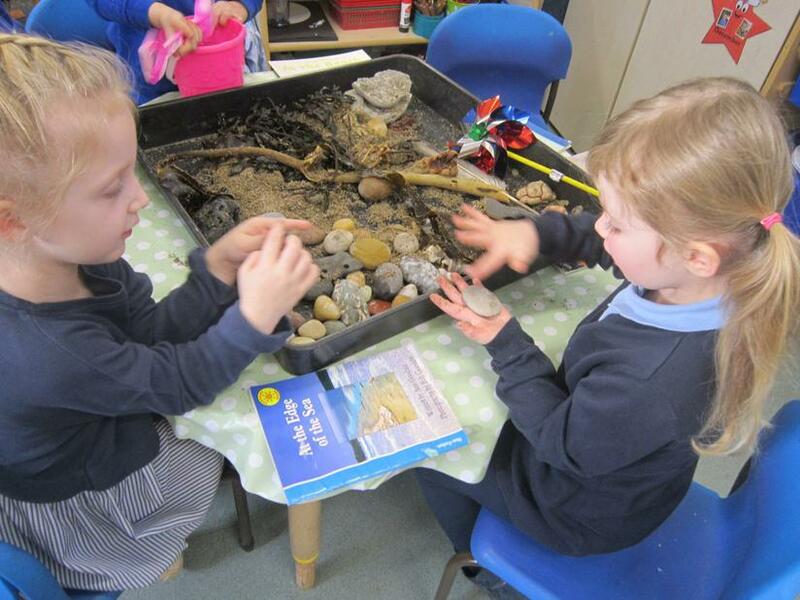 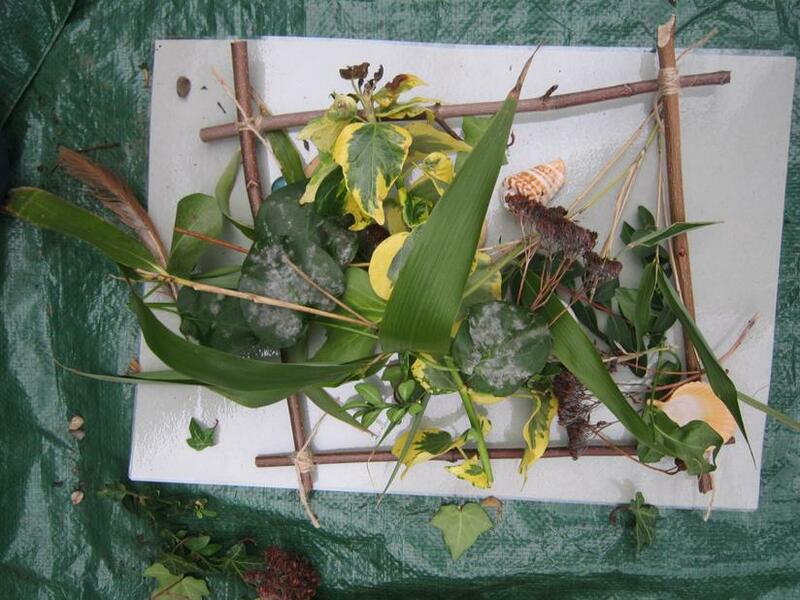 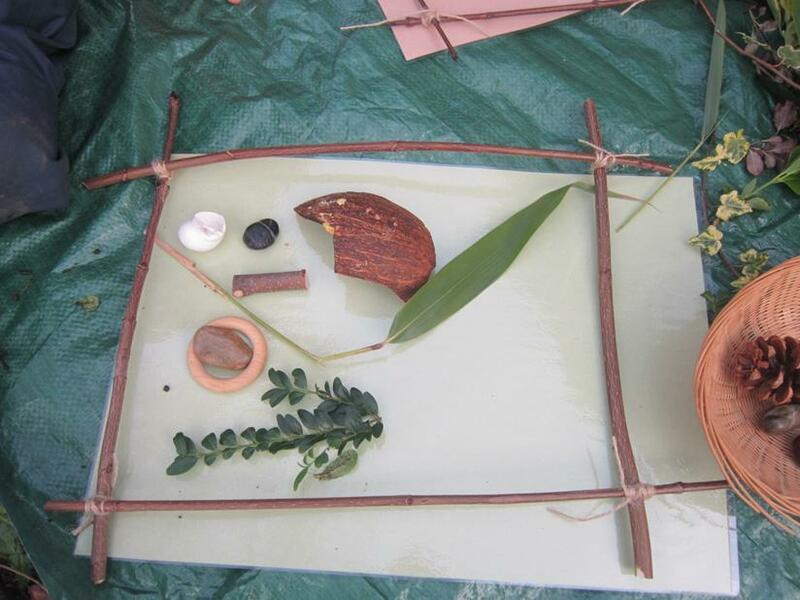 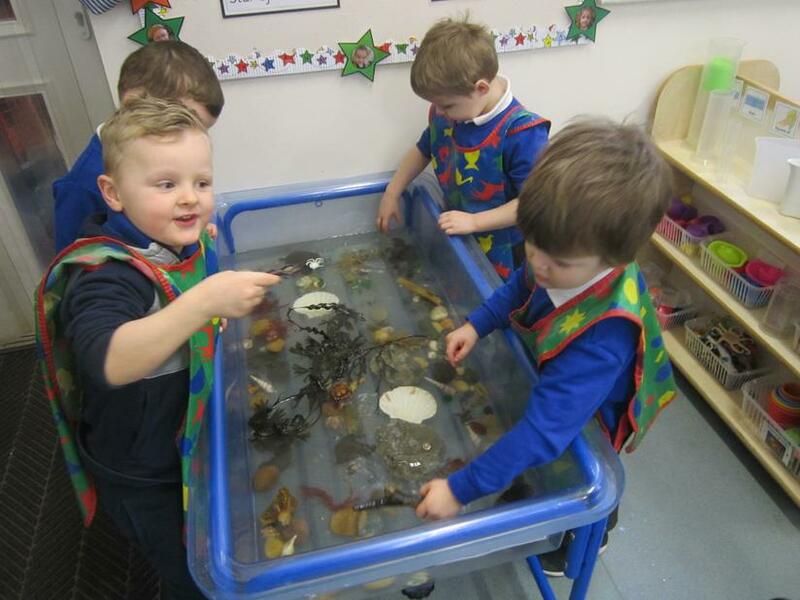 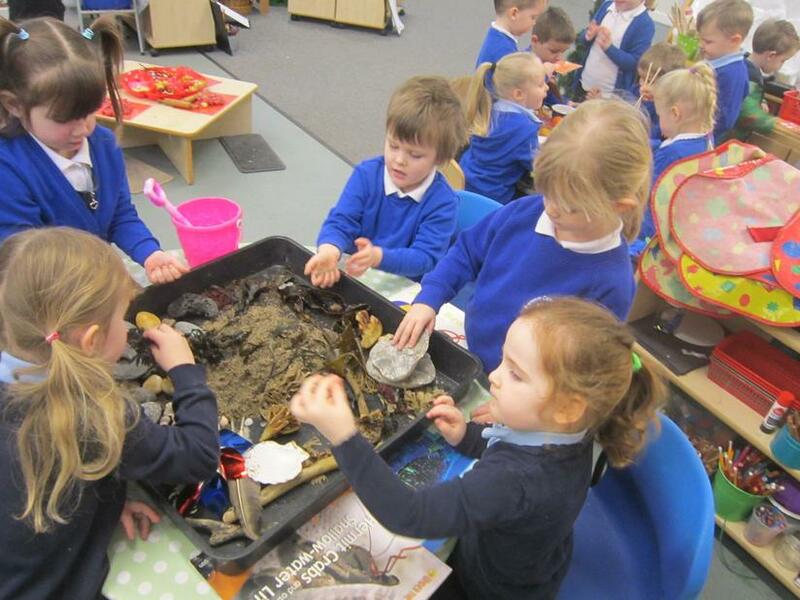 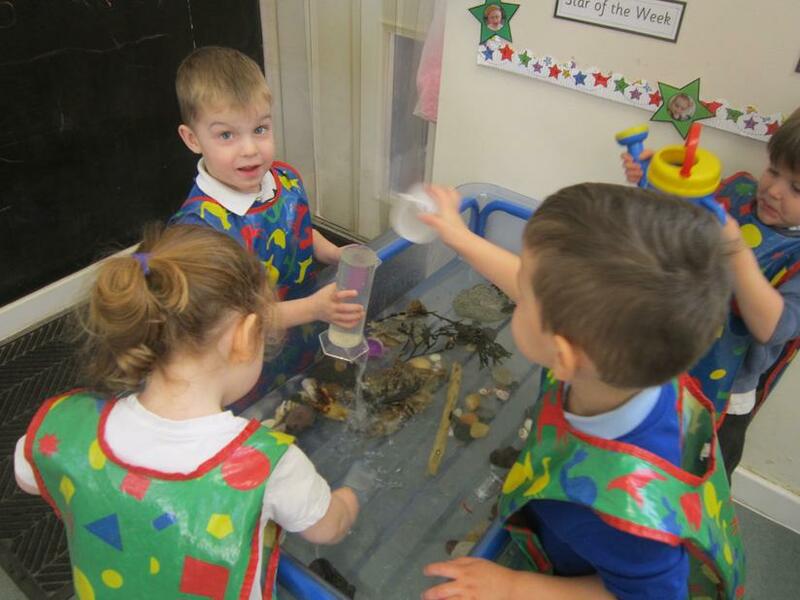 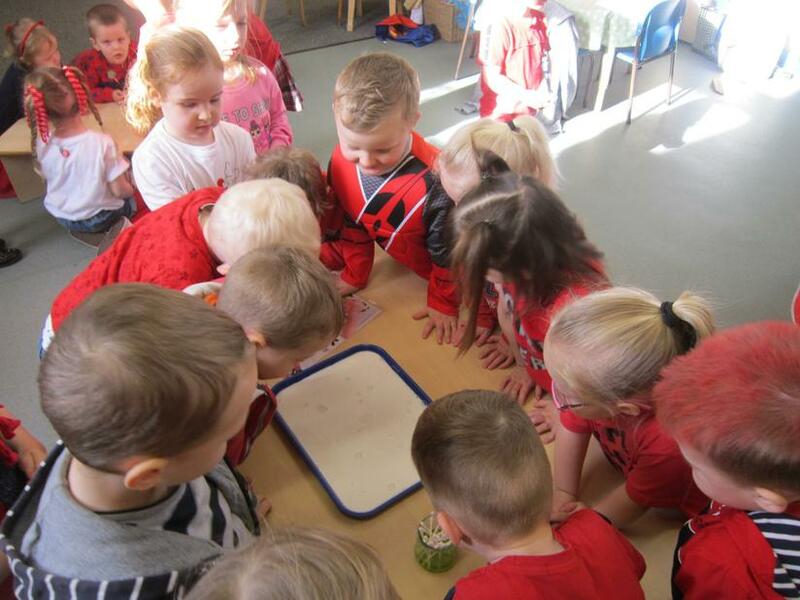 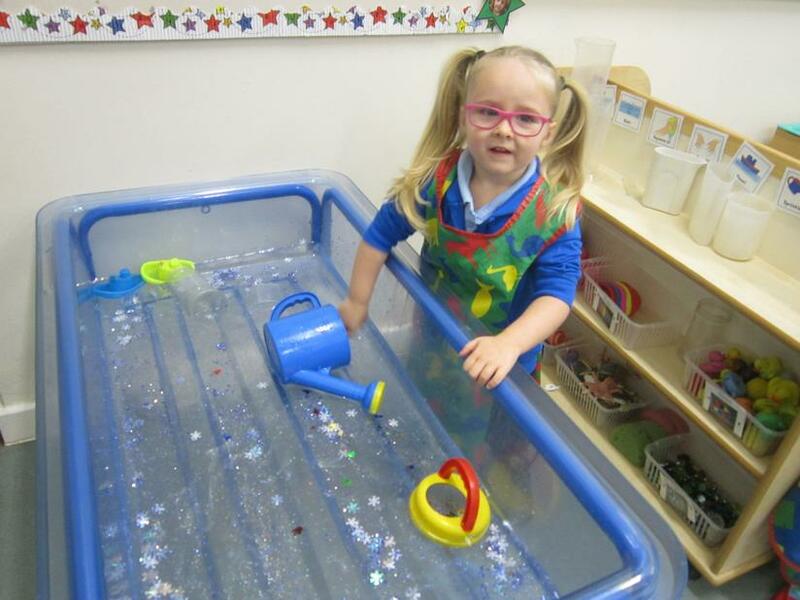 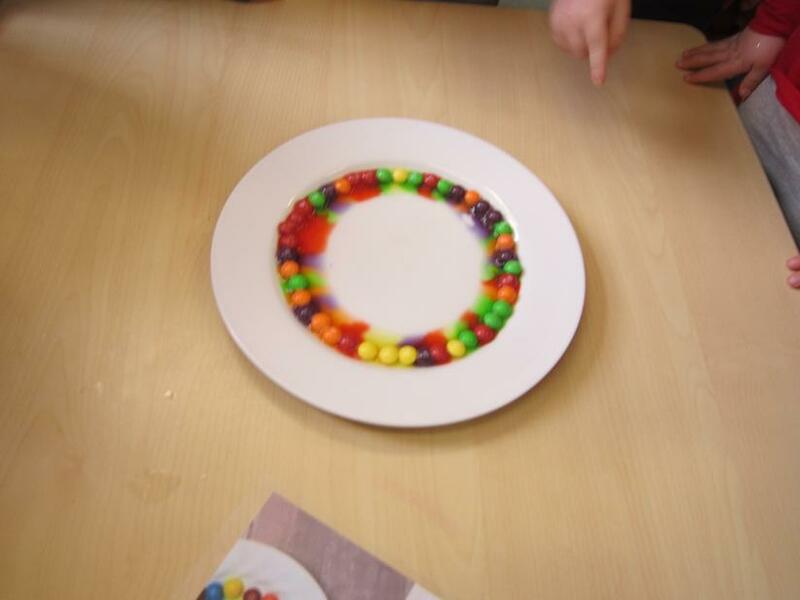 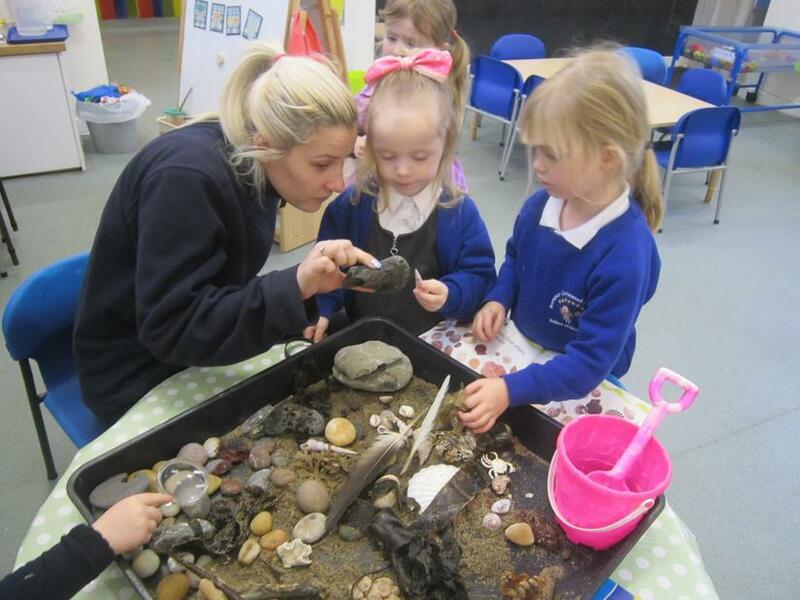 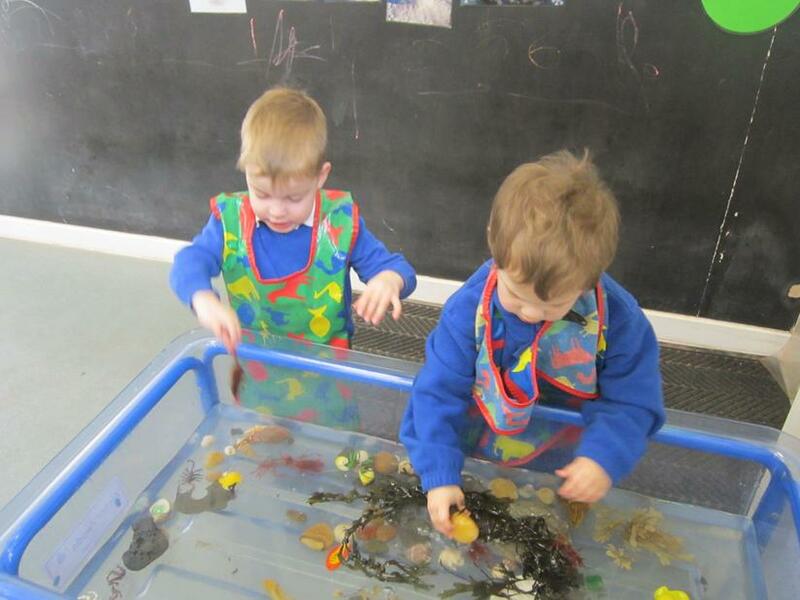 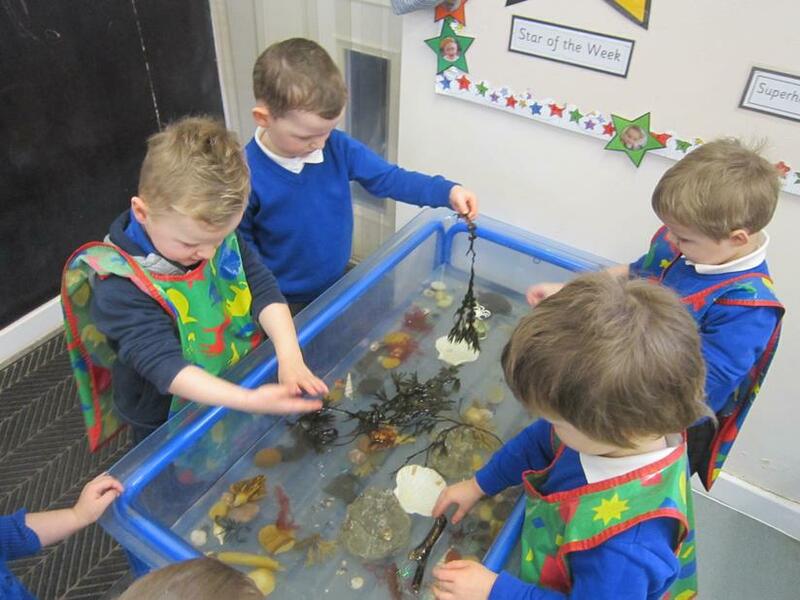 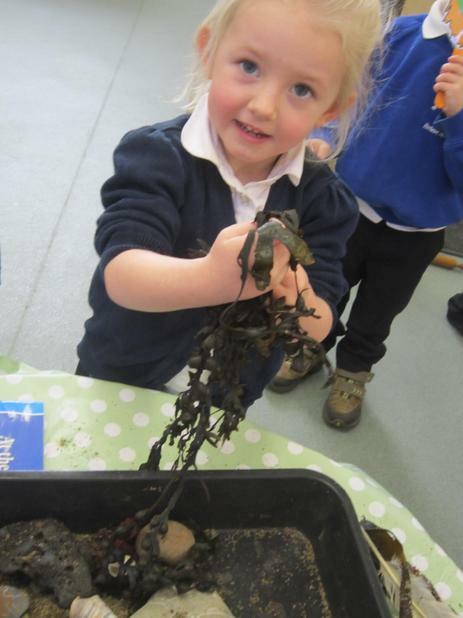 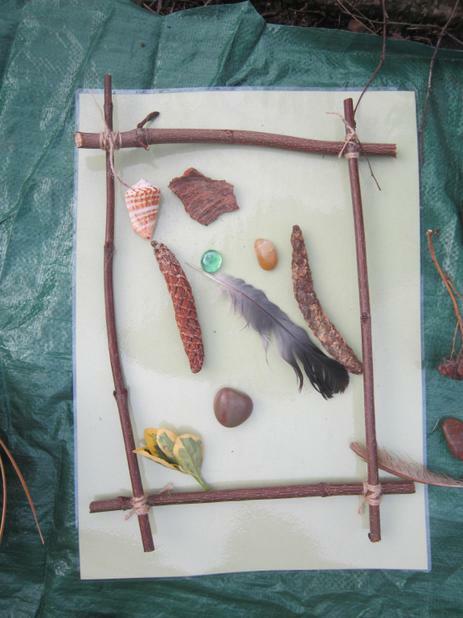 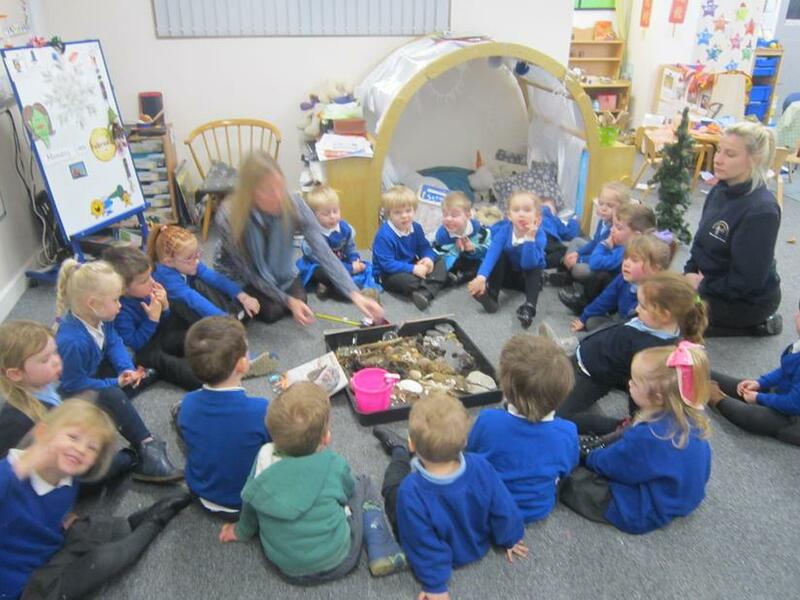 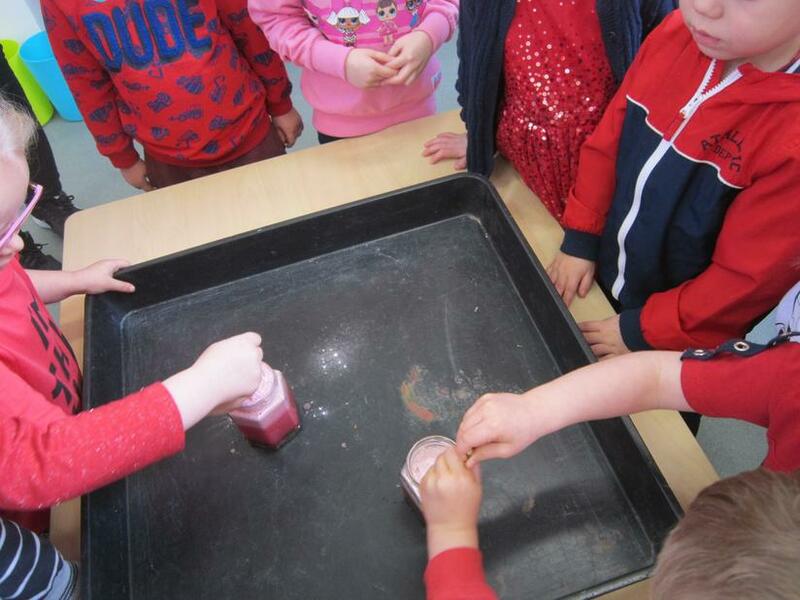 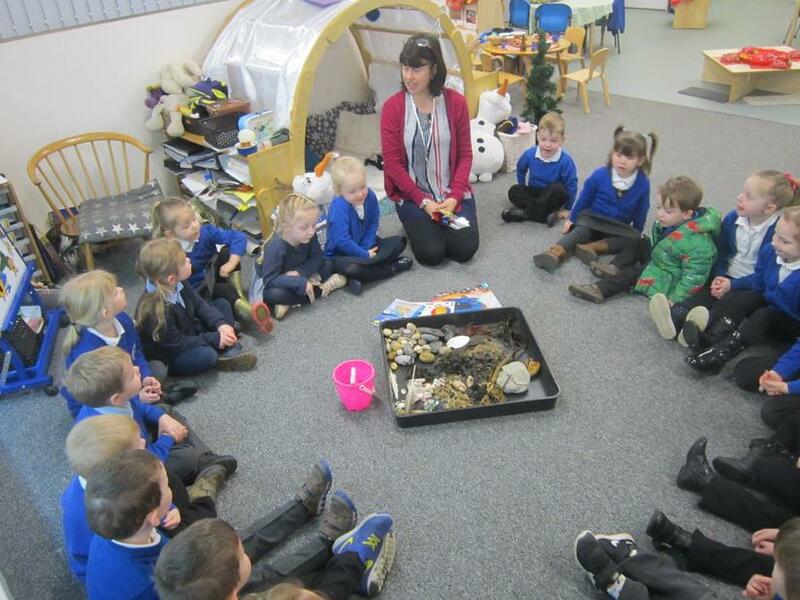 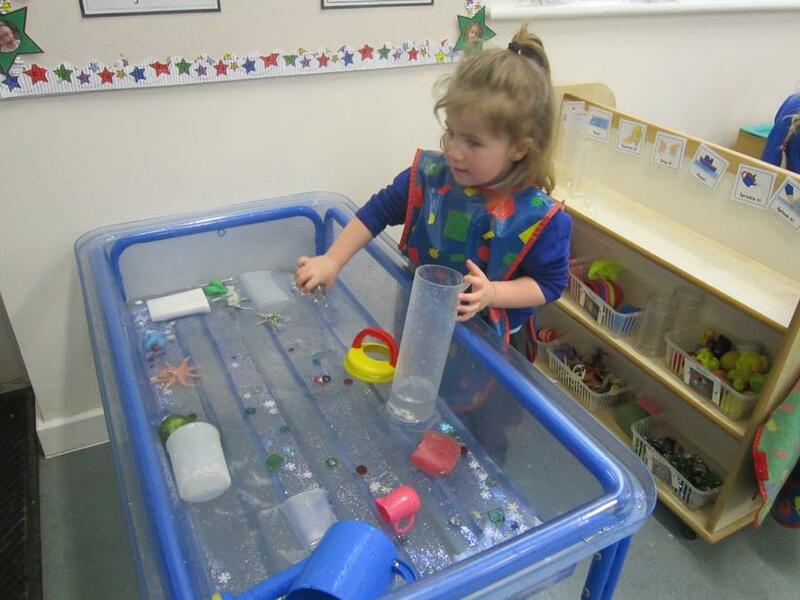 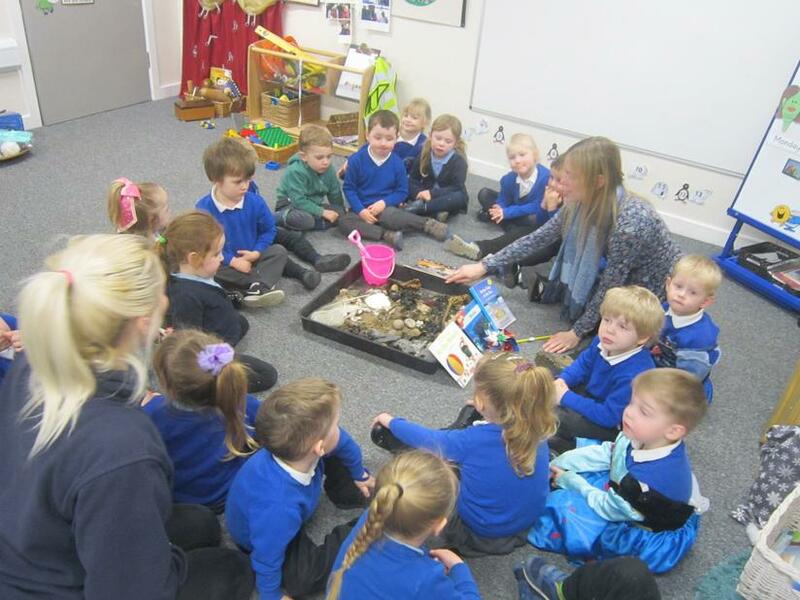 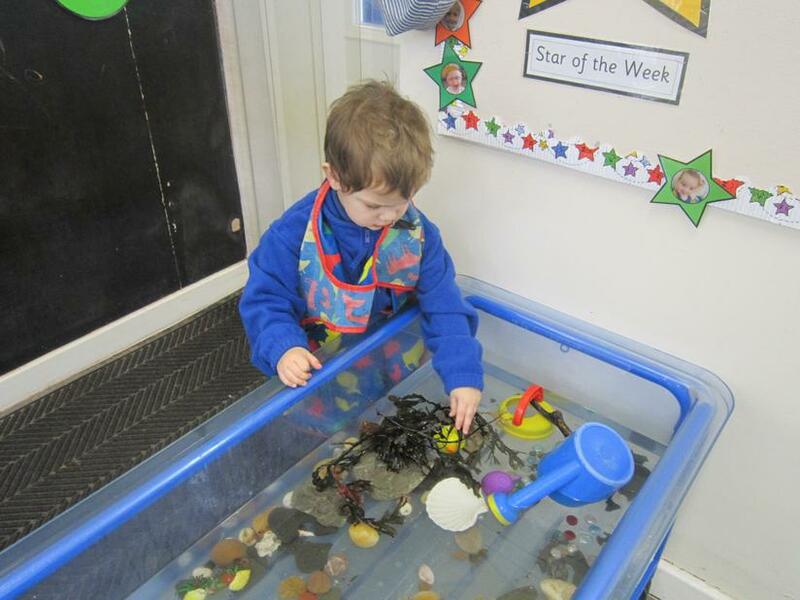 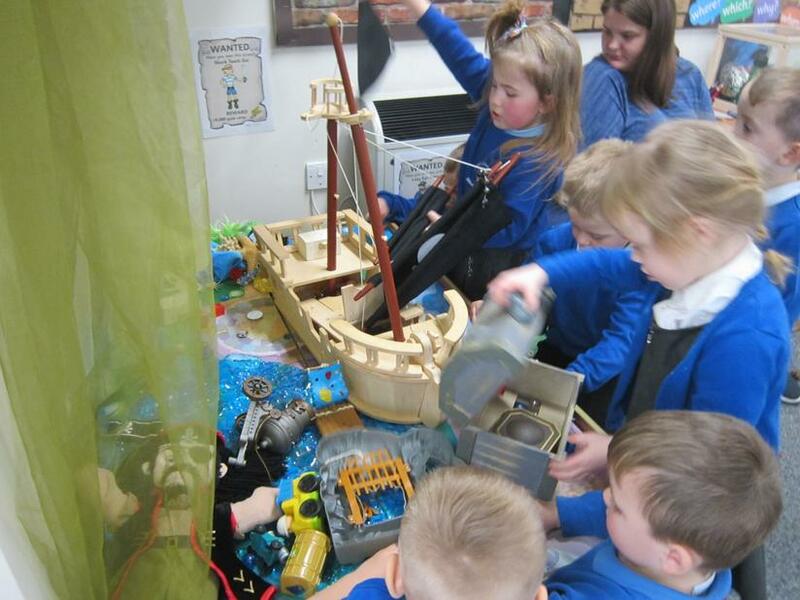 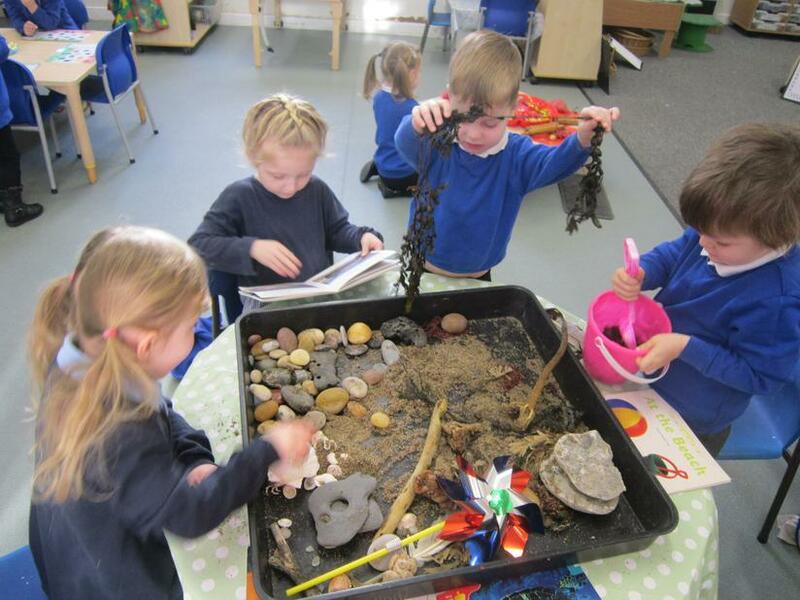 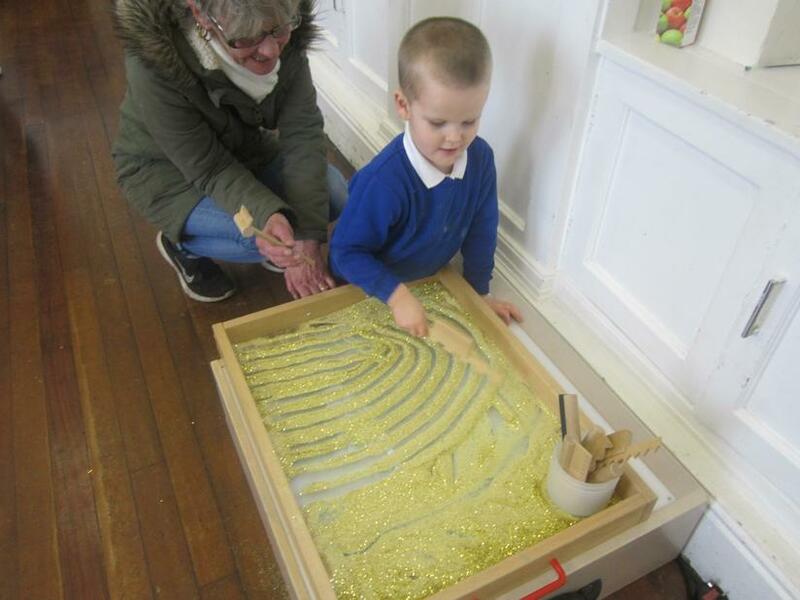 Our seaside treasure tray and seeing what they look like in water. 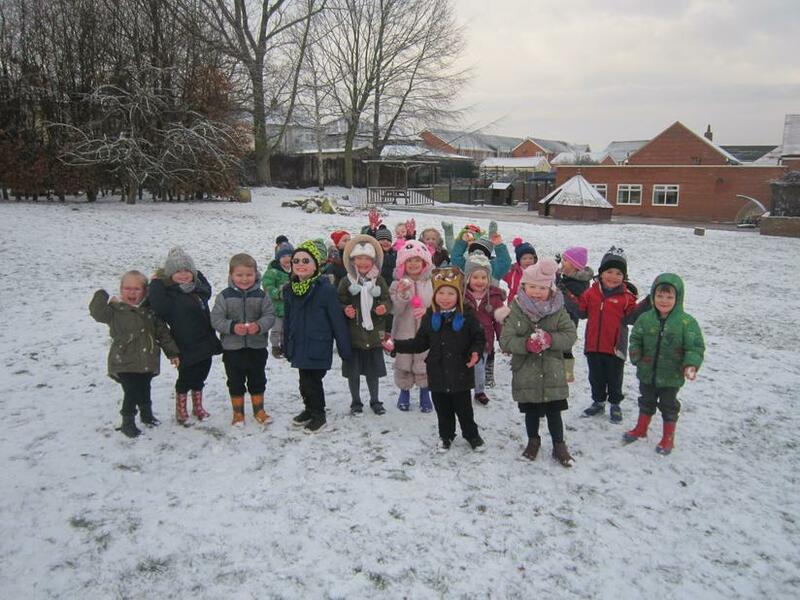 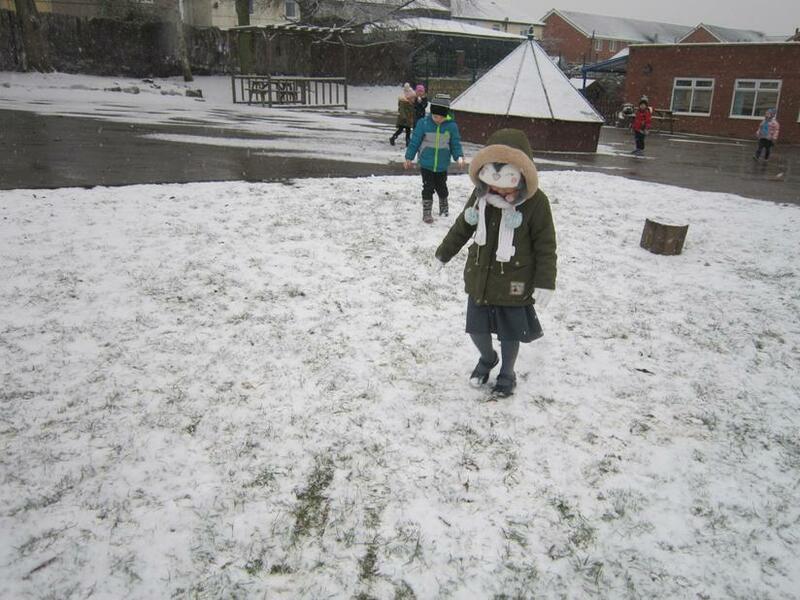 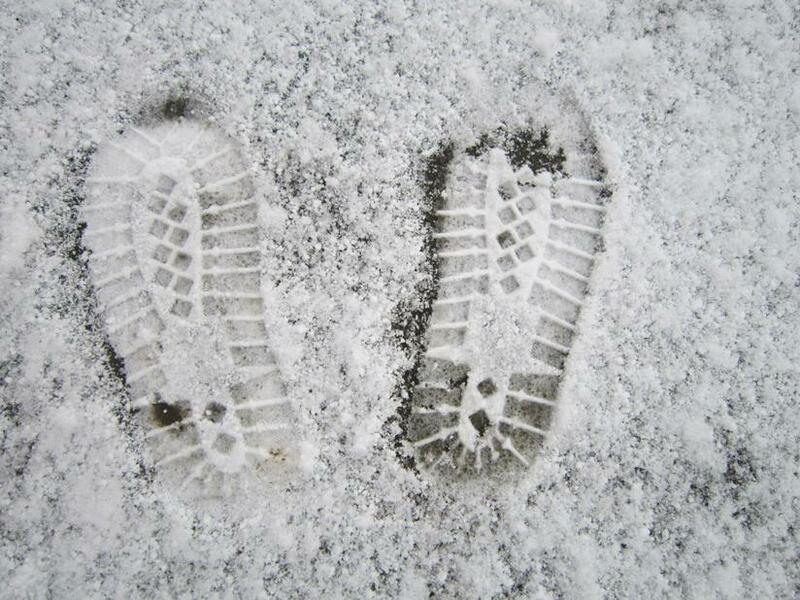 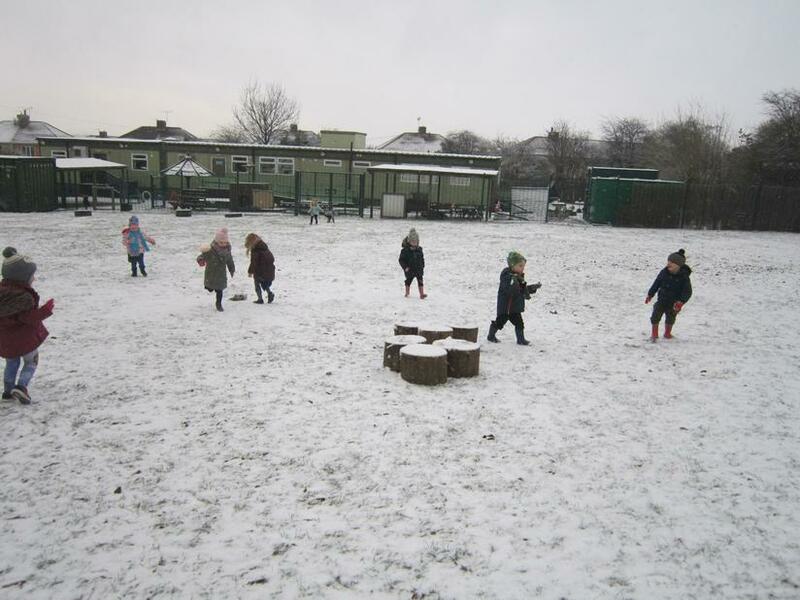 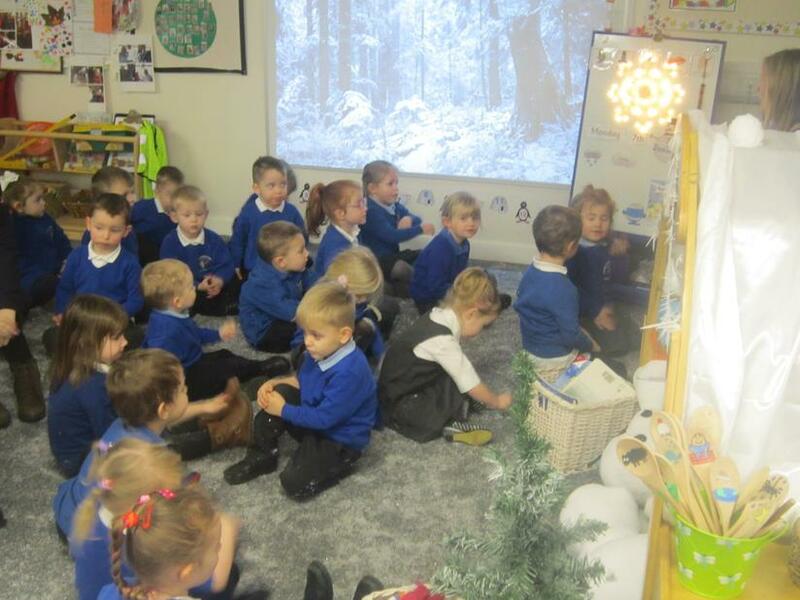 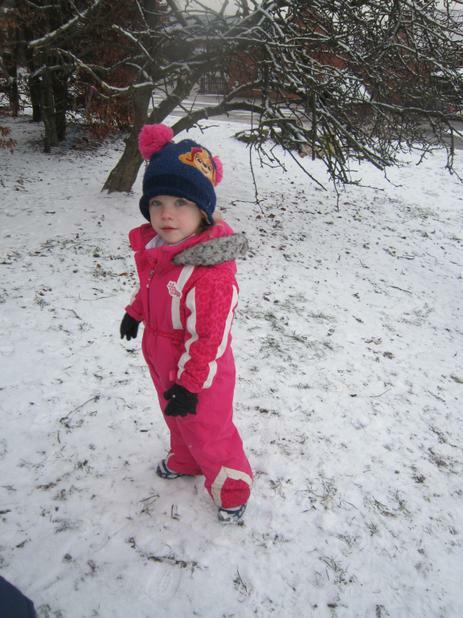 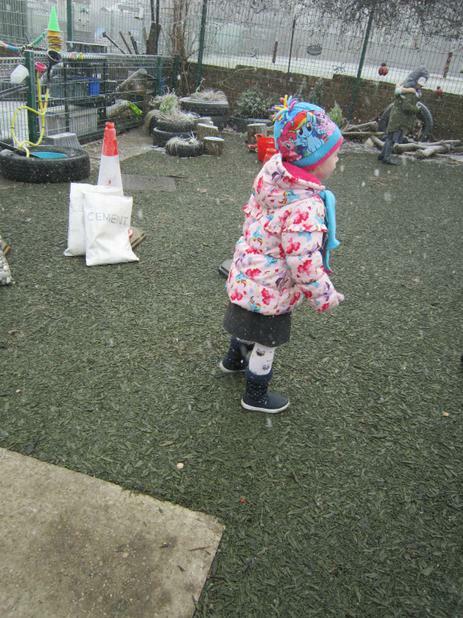 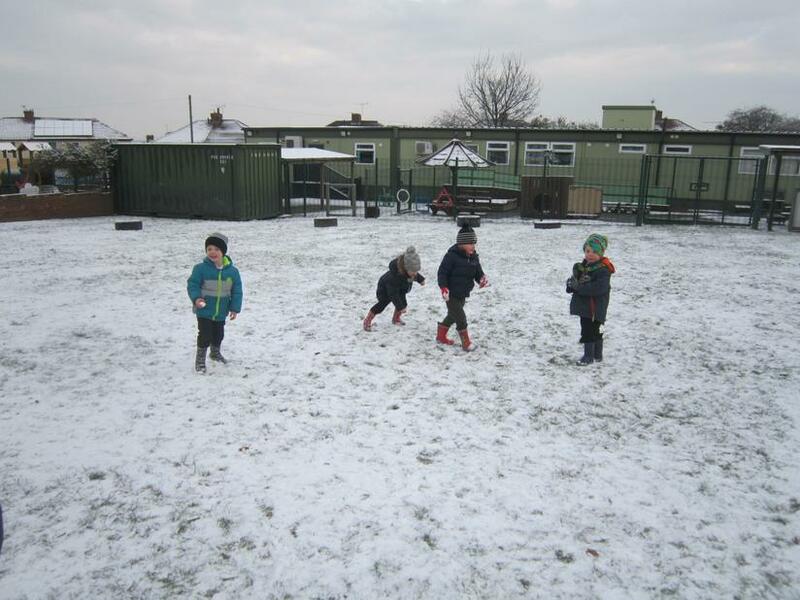 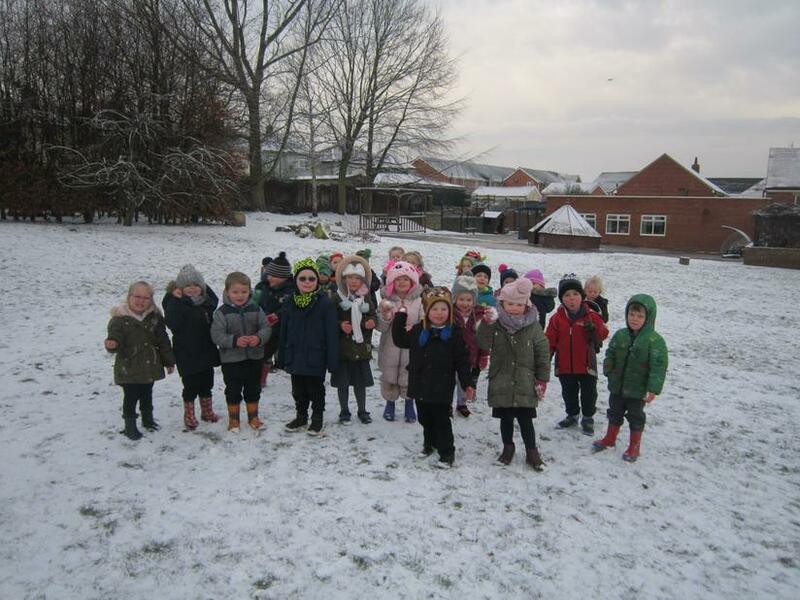 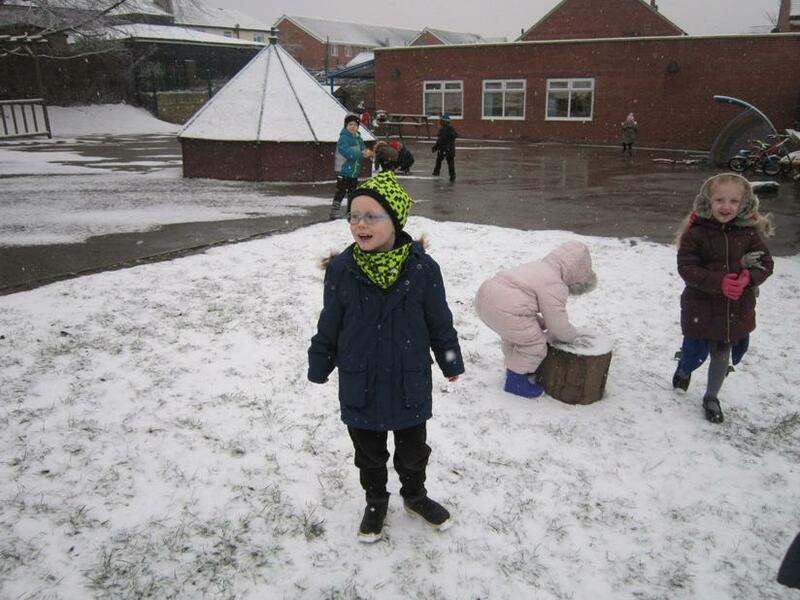 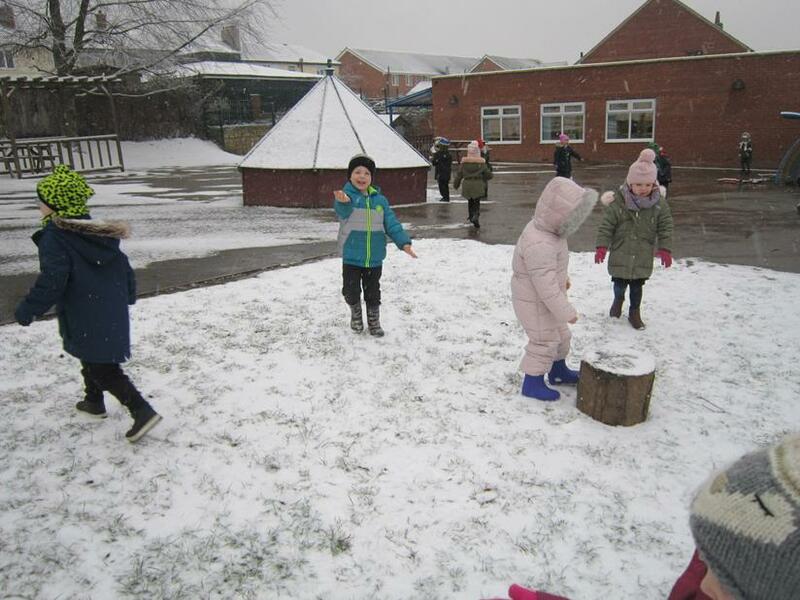 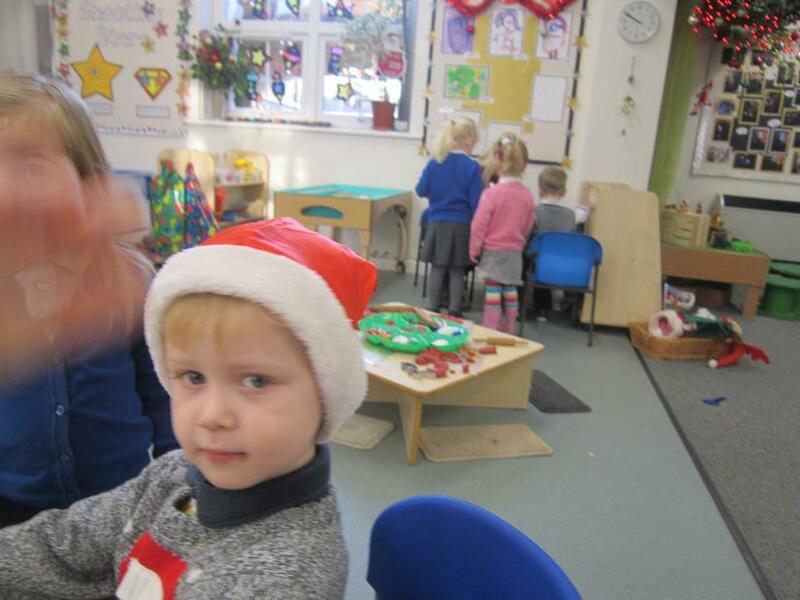 A snowy day in F1. 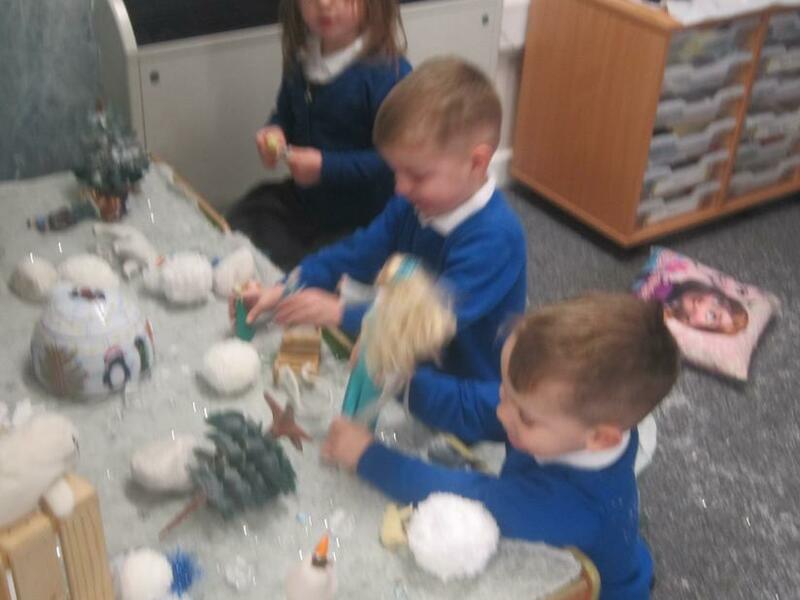 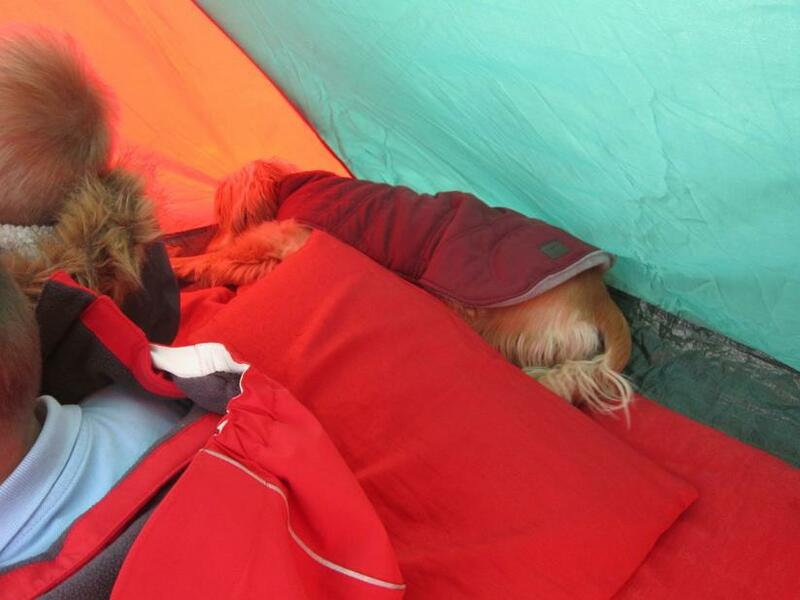 What happens in Winter? 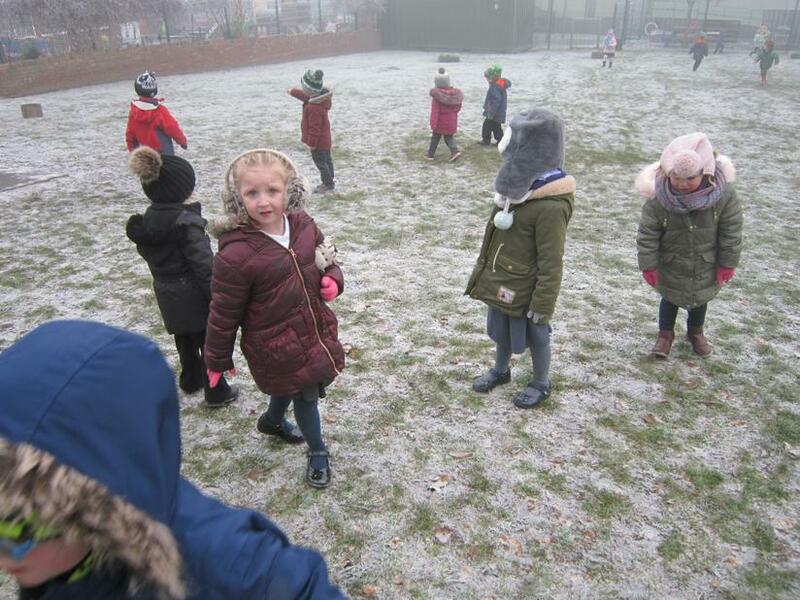 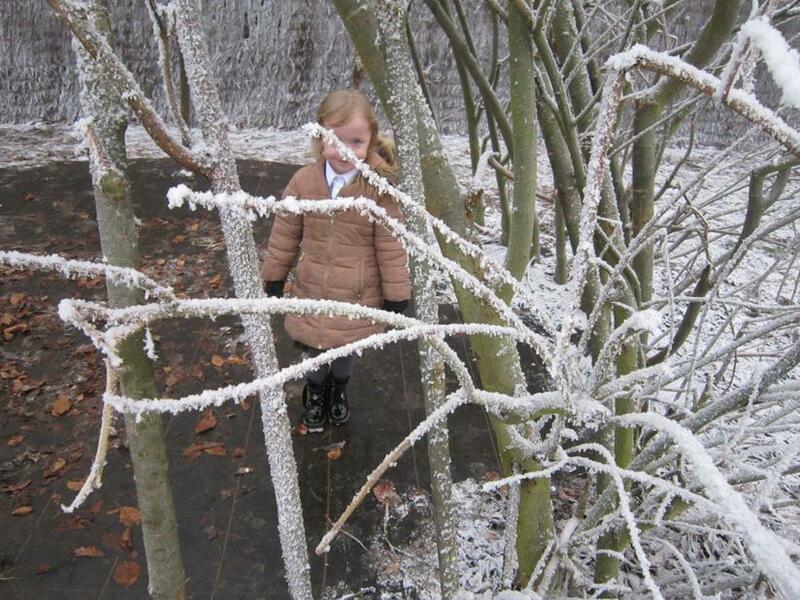 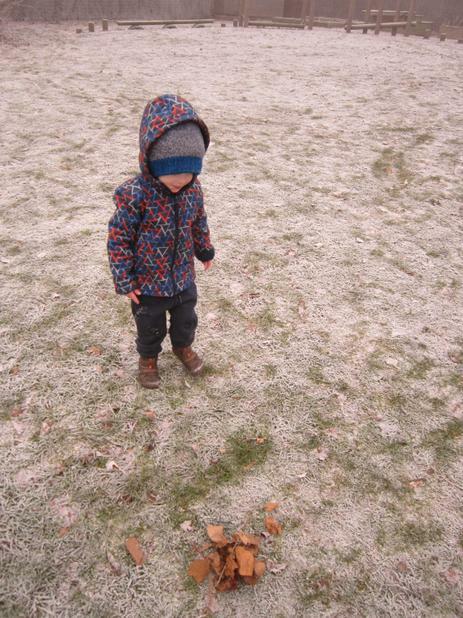 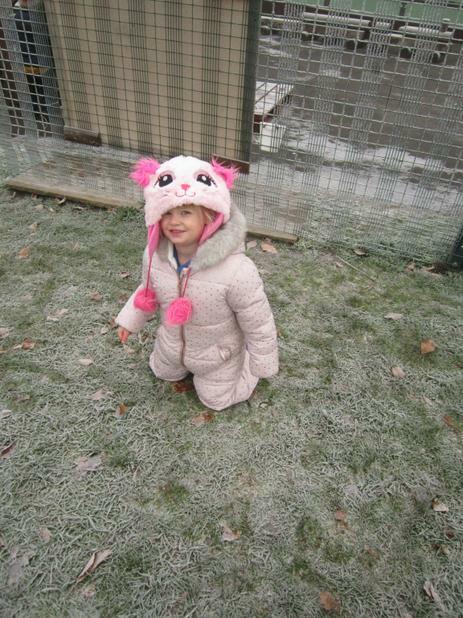 Jack frost come and turns everything white and frosty. 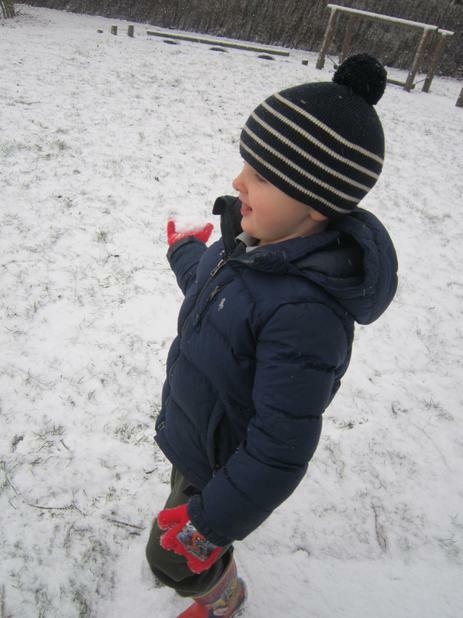 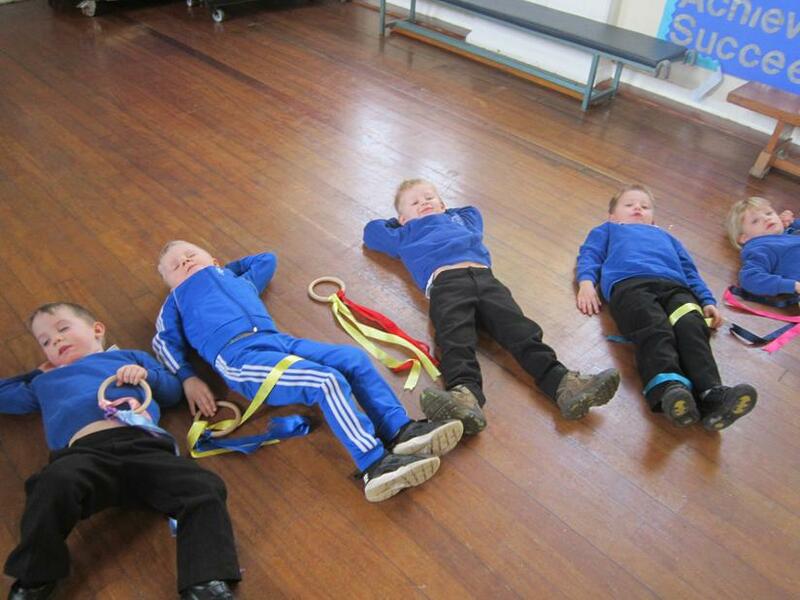 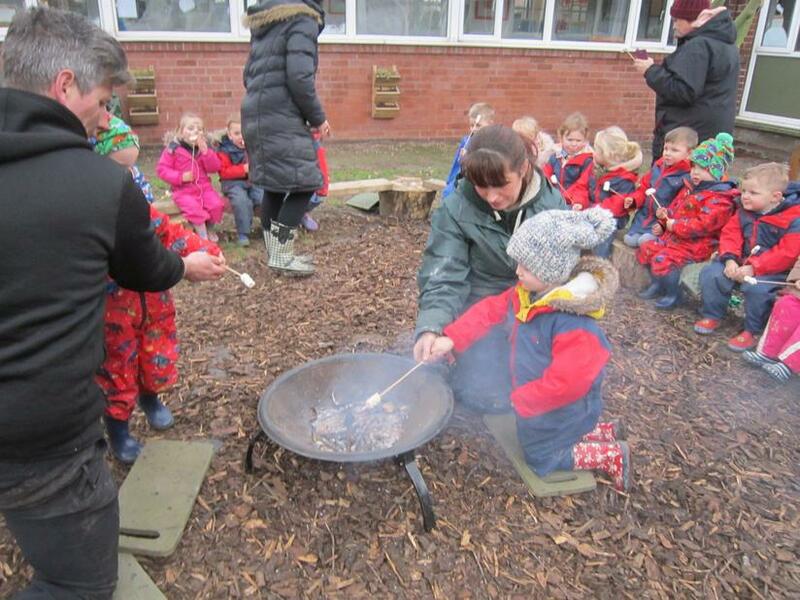 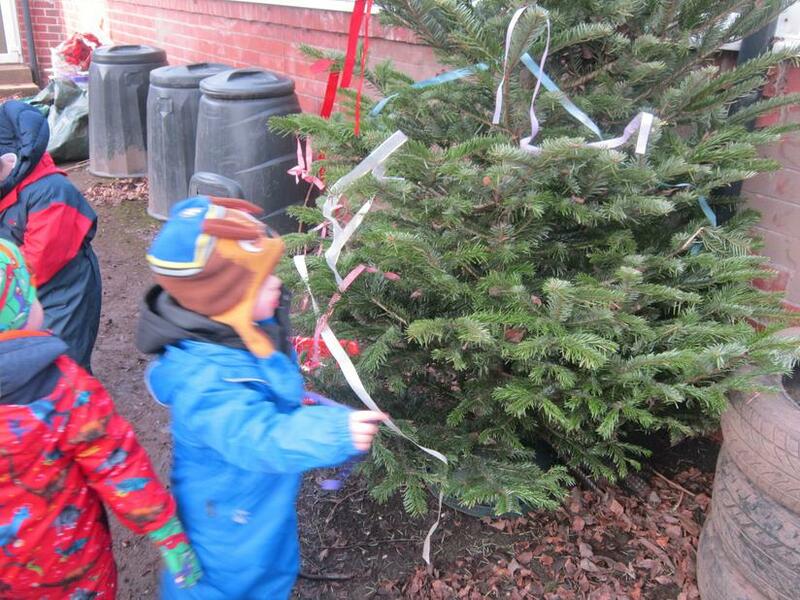 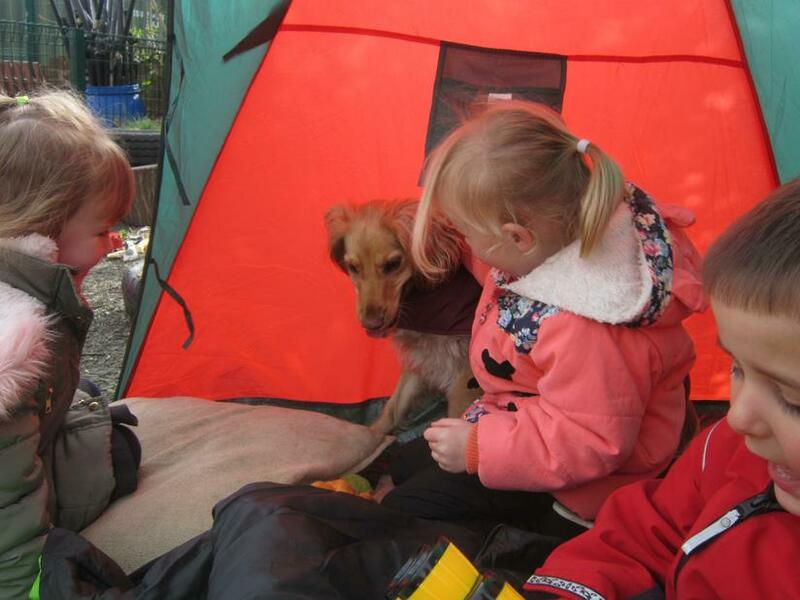 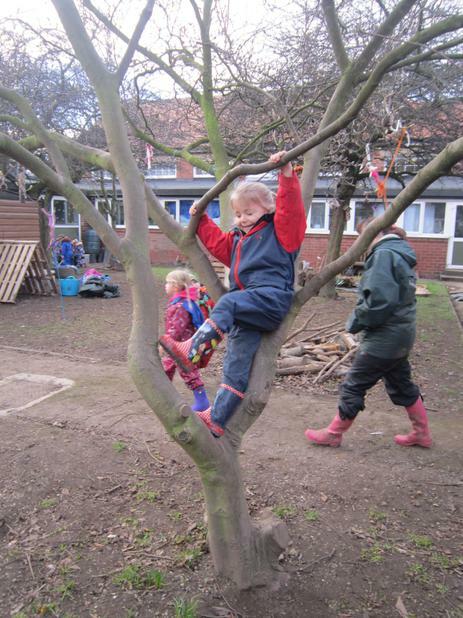 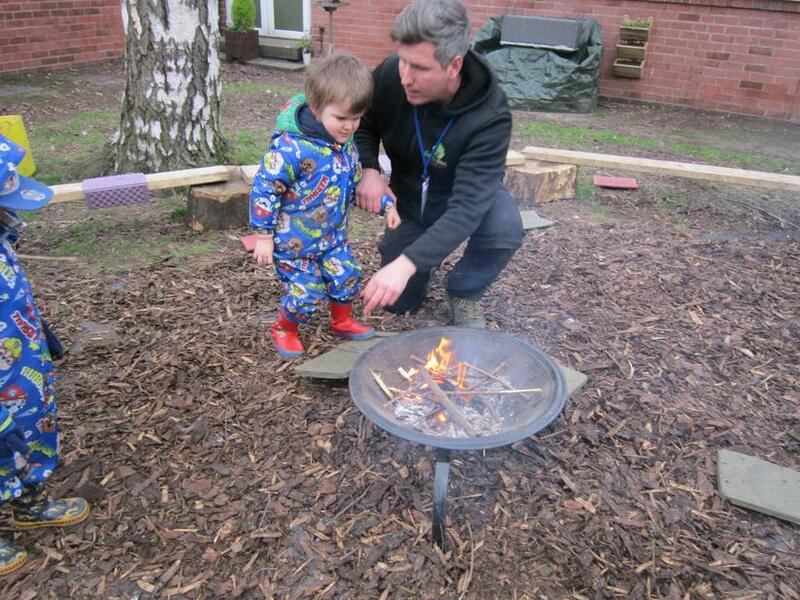 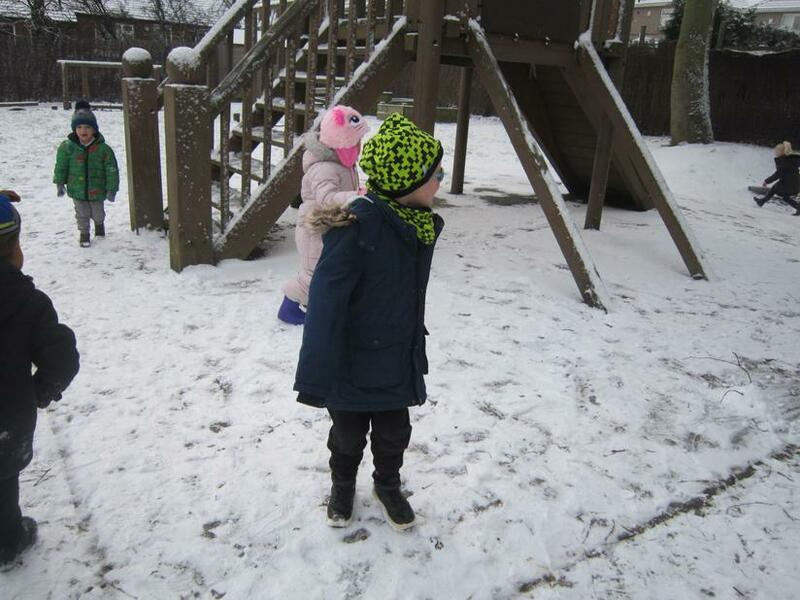 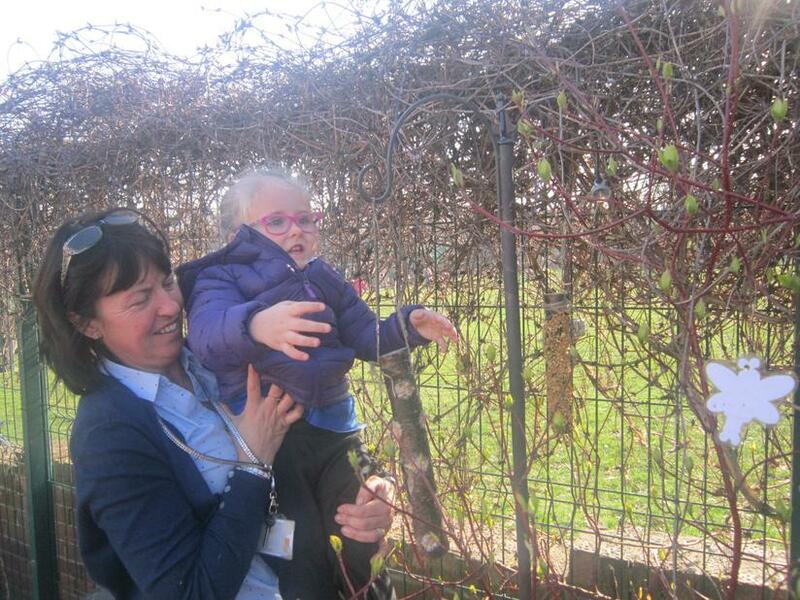 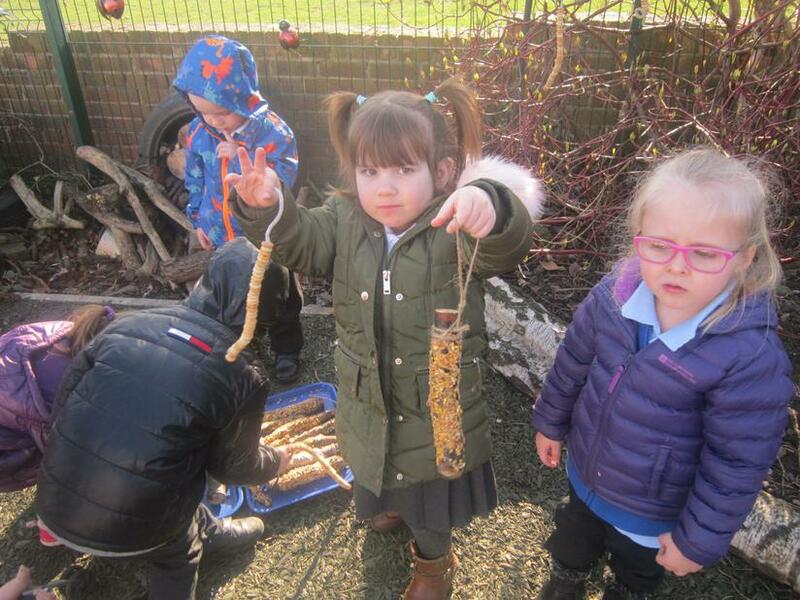 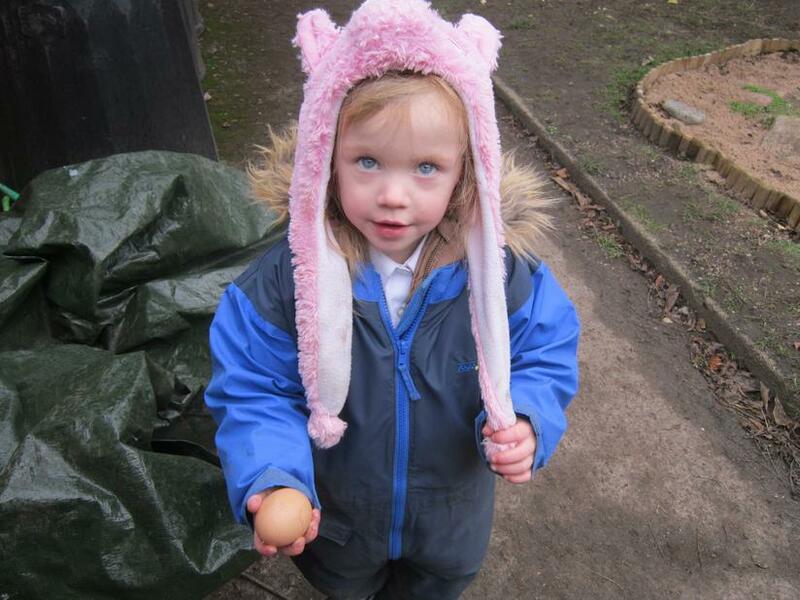 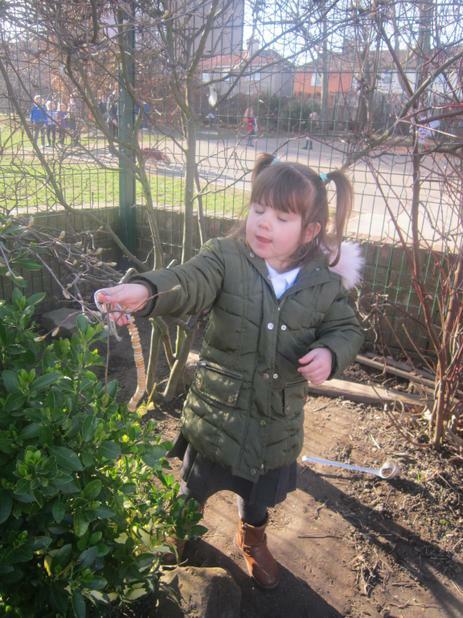 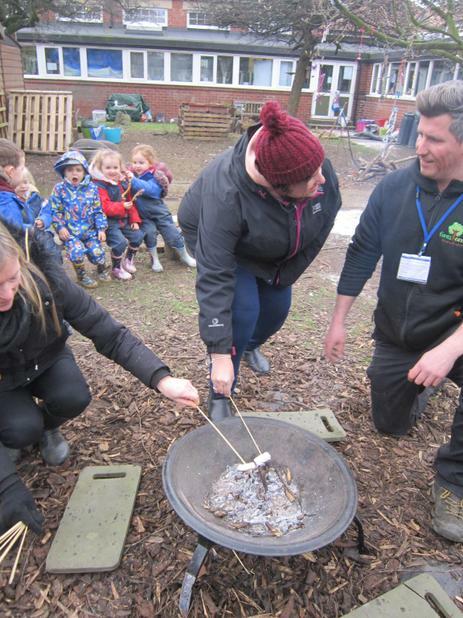 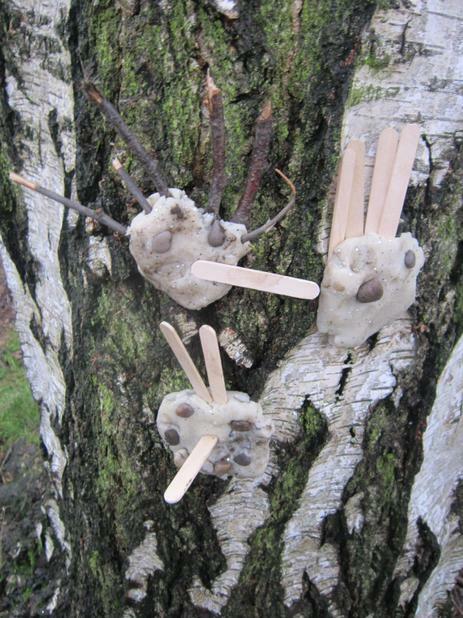 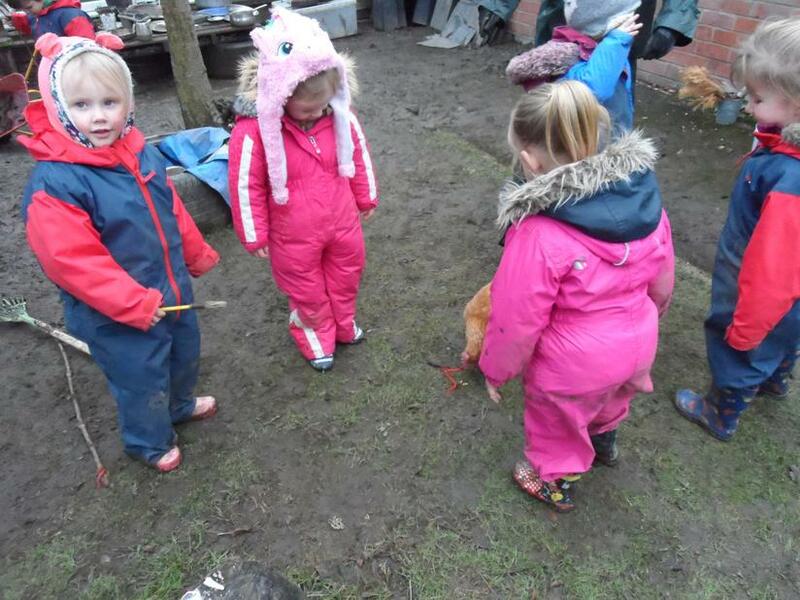 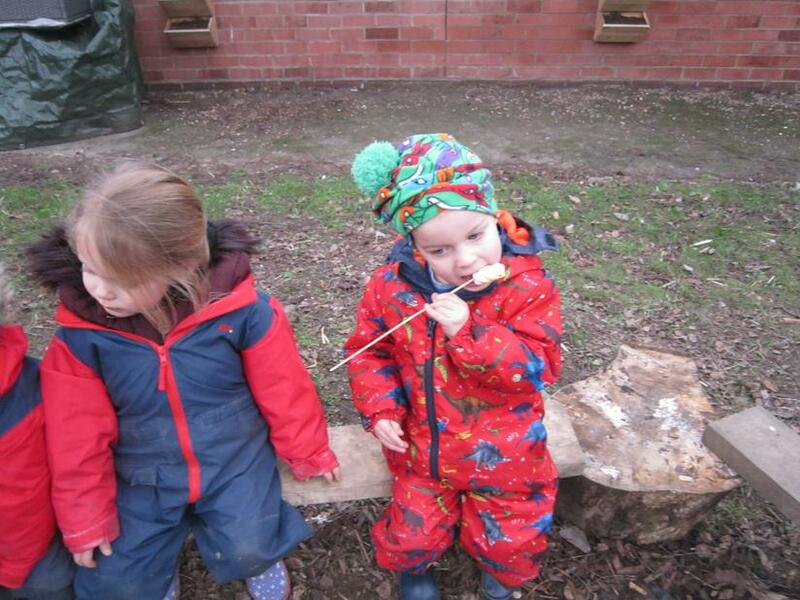 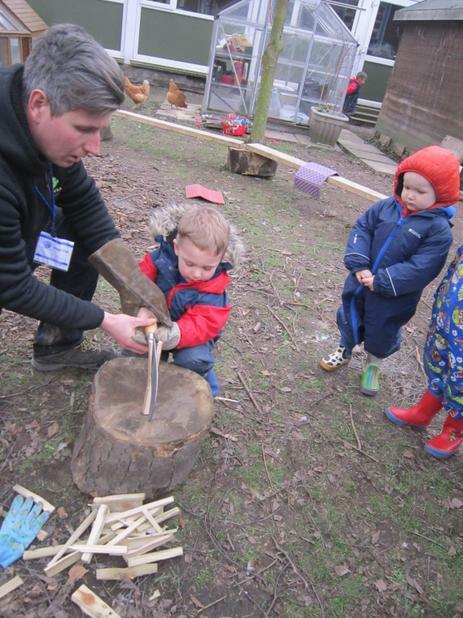 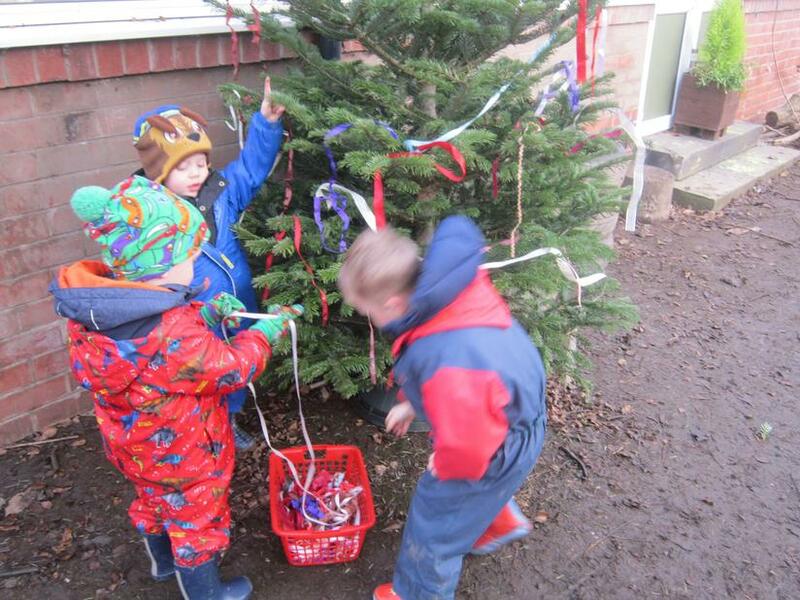 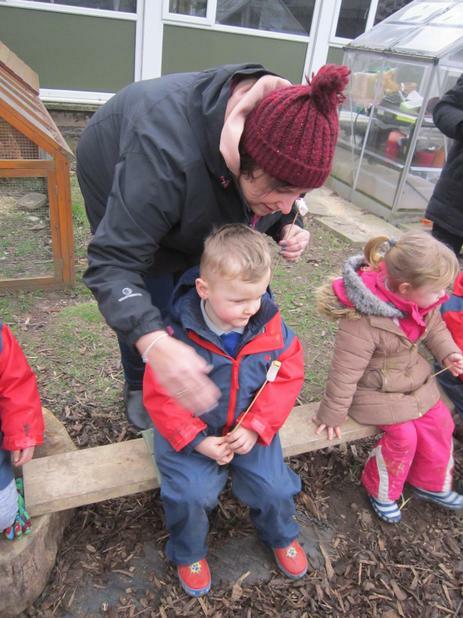 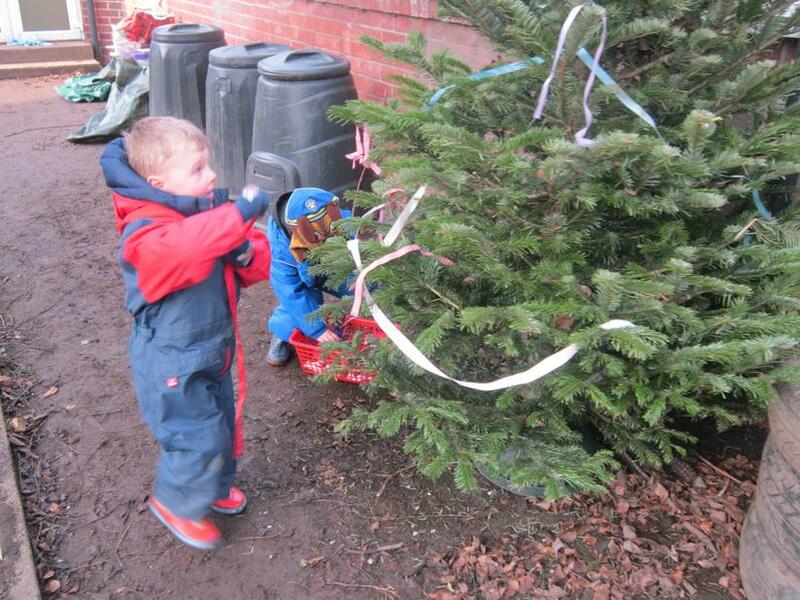 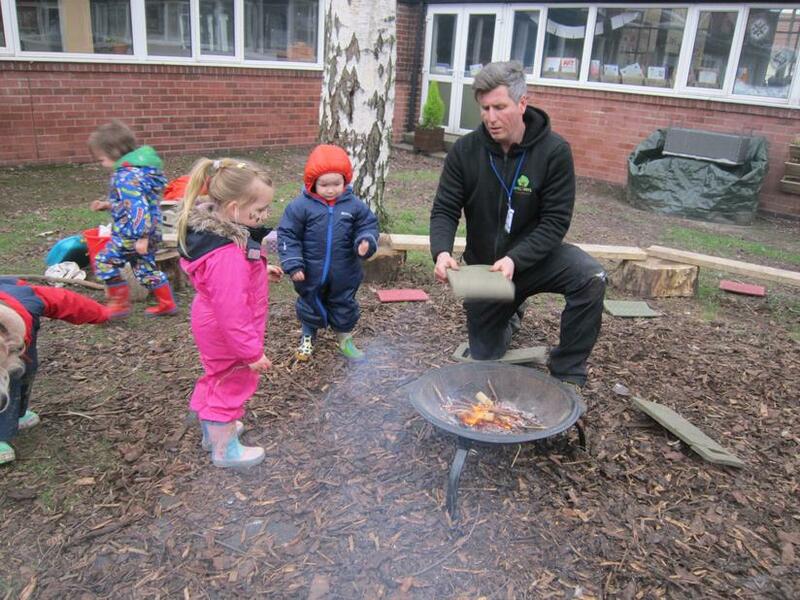 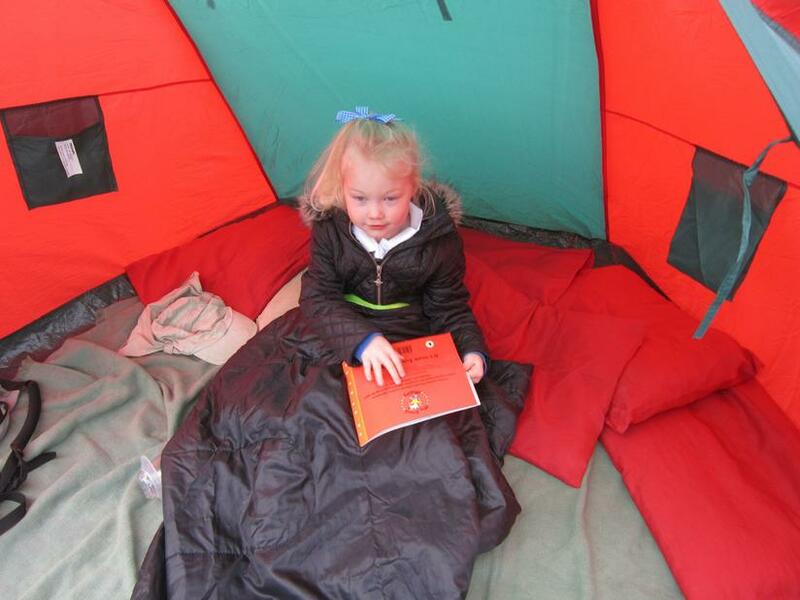 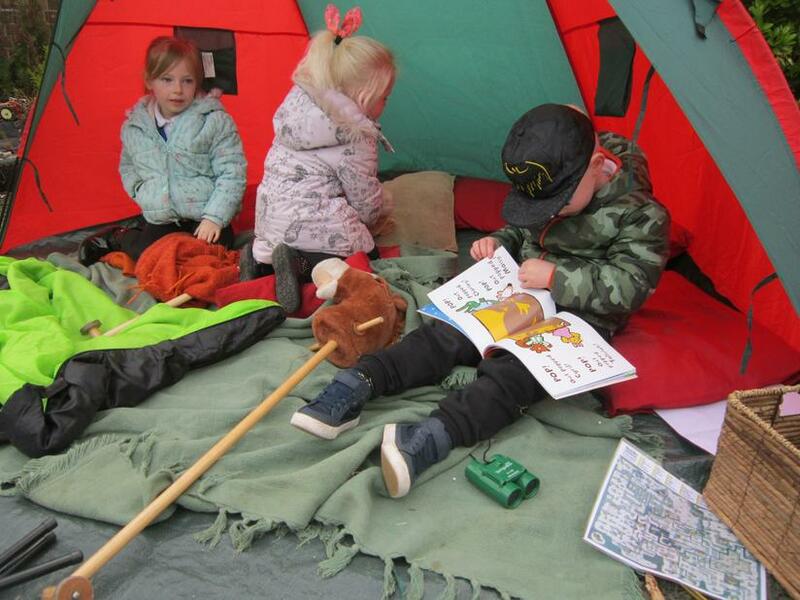 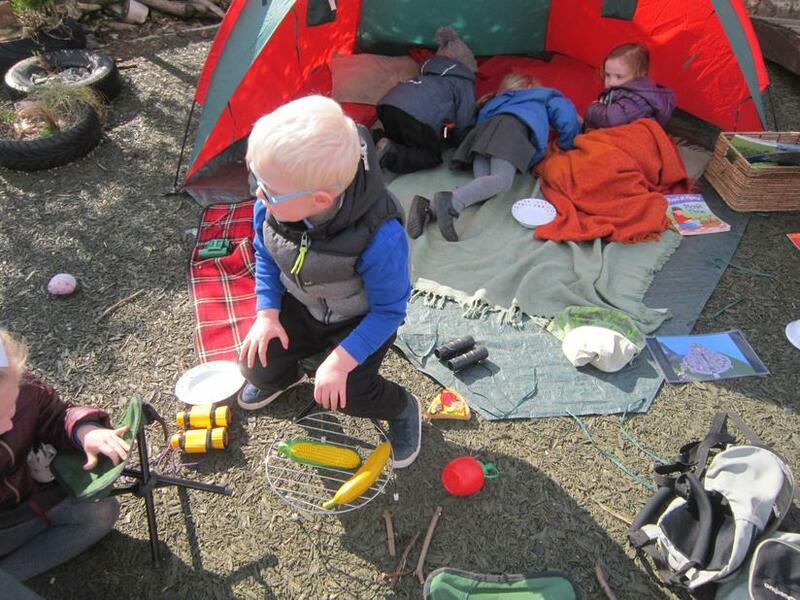 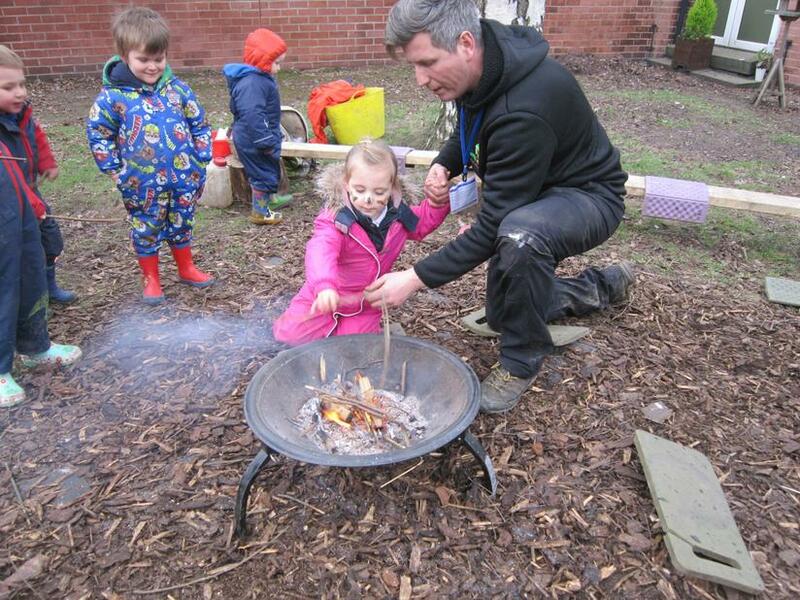 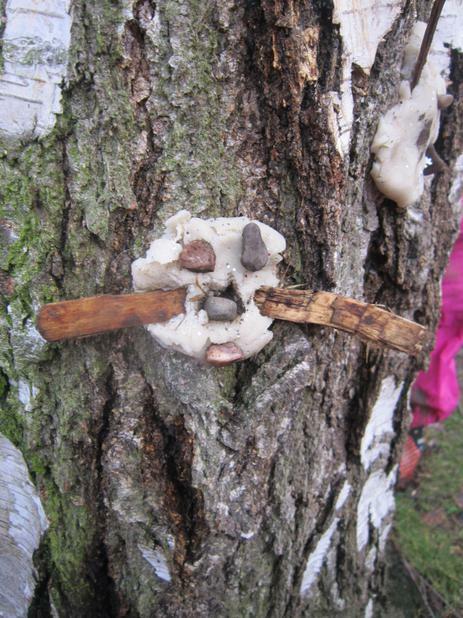 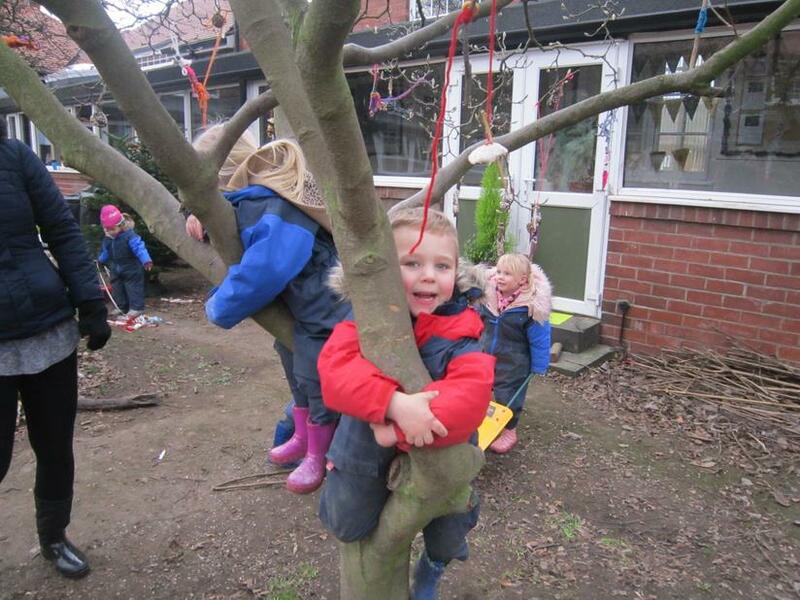 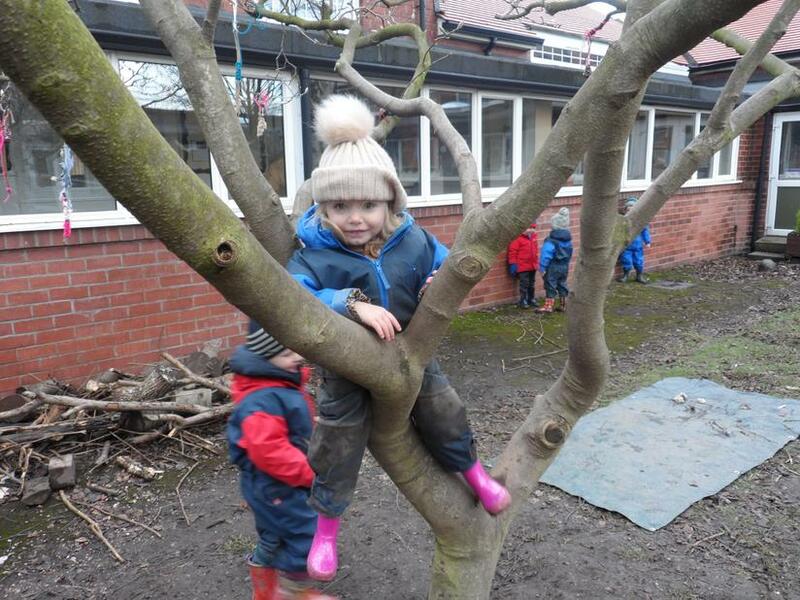 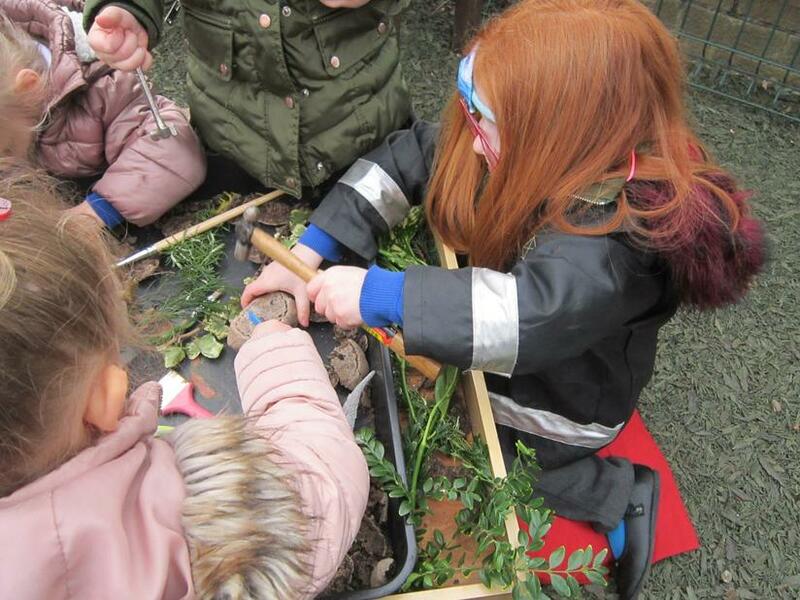 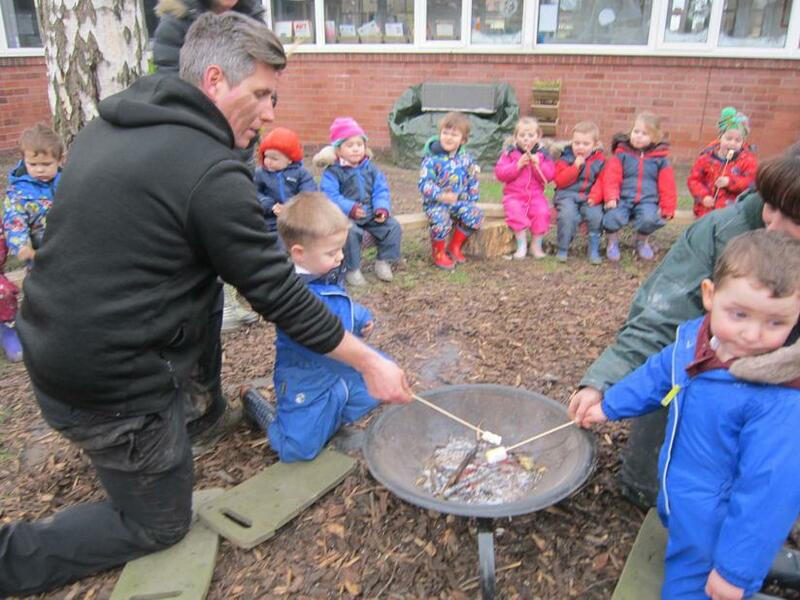 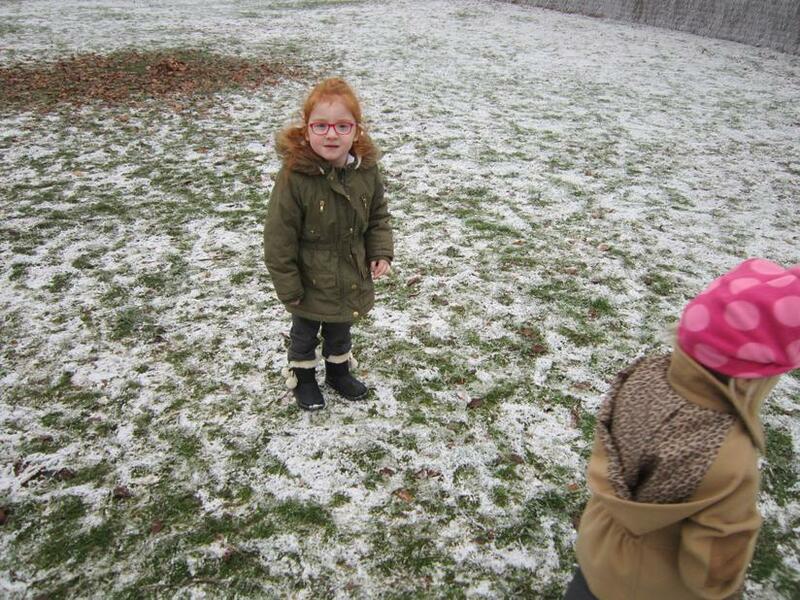 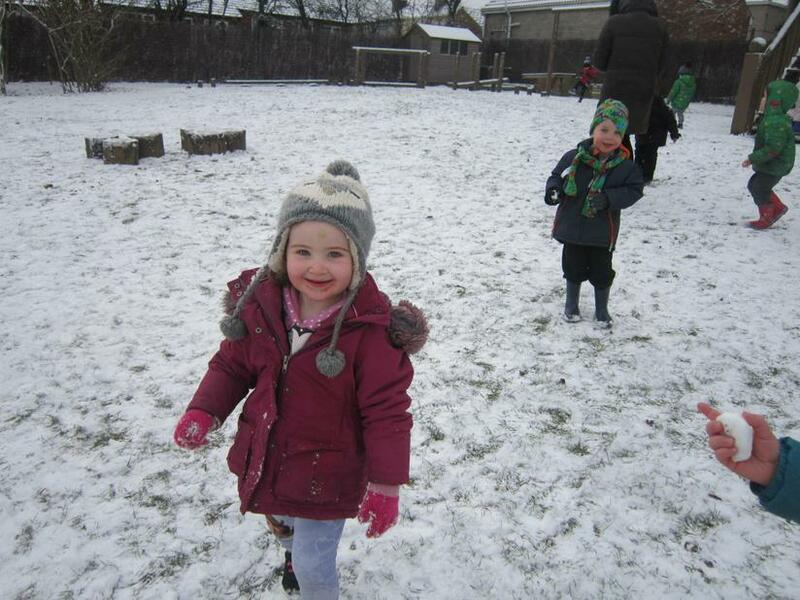 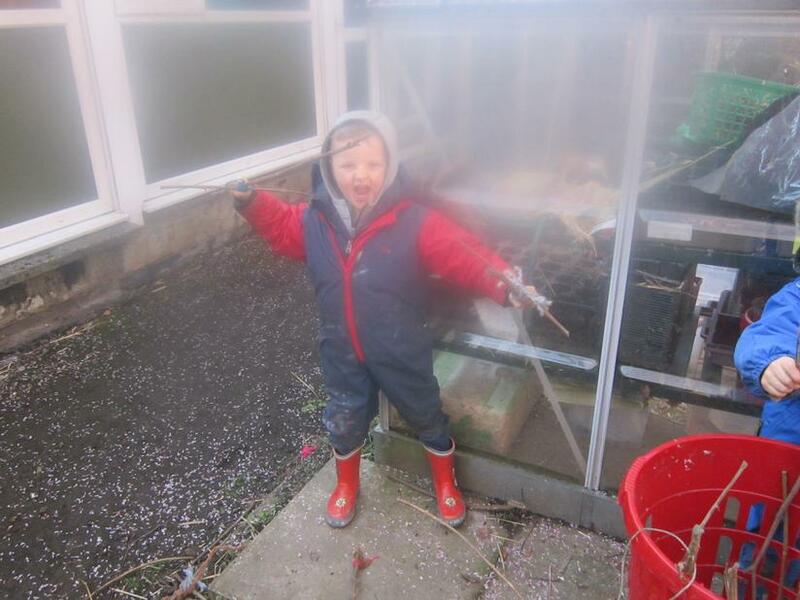 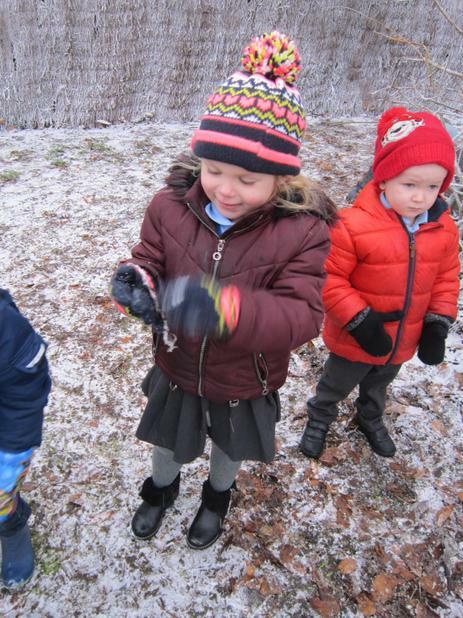 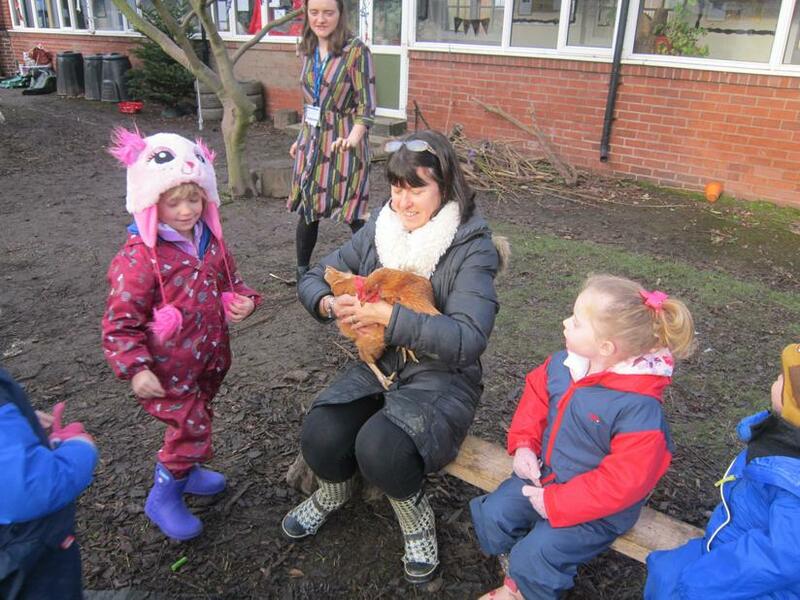 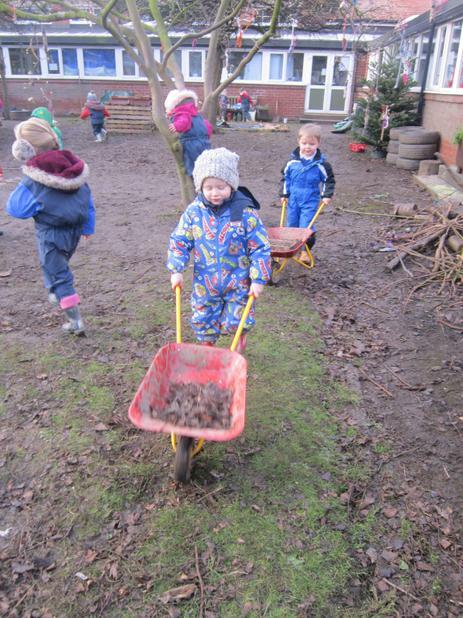 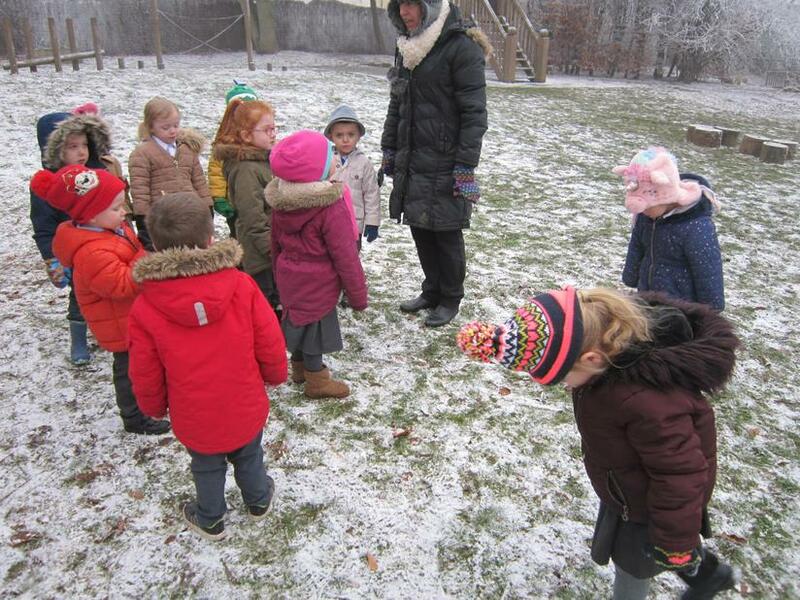 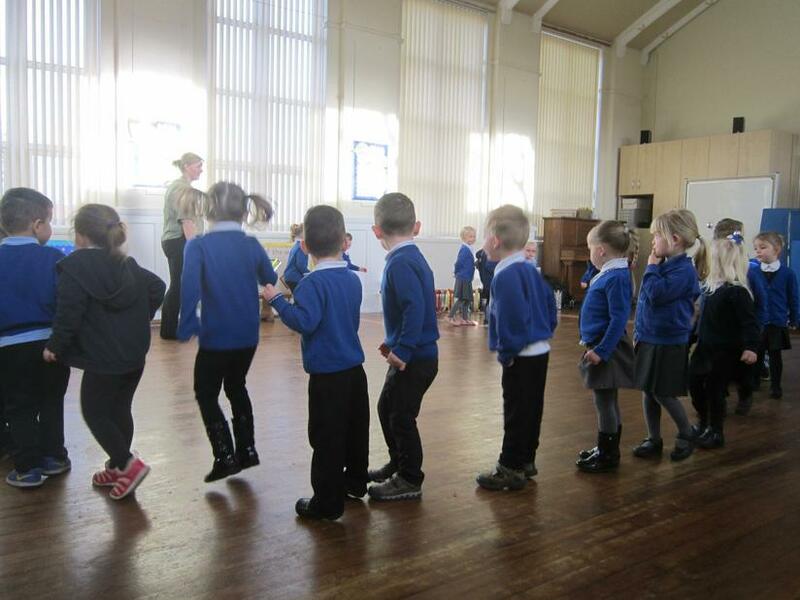 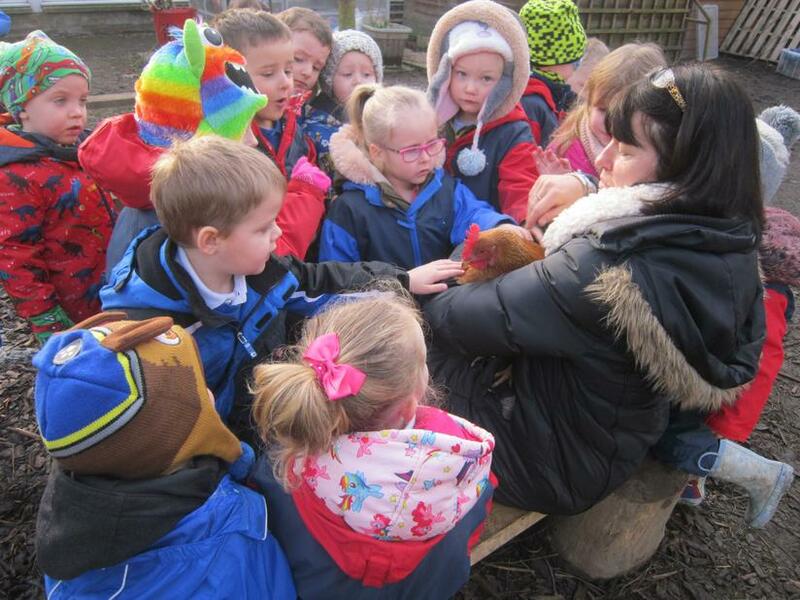 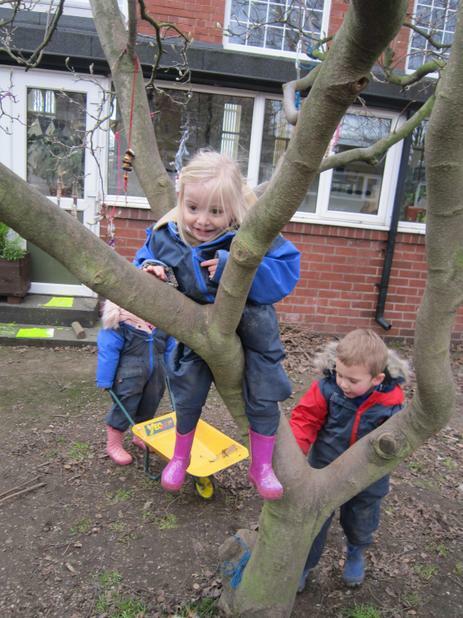 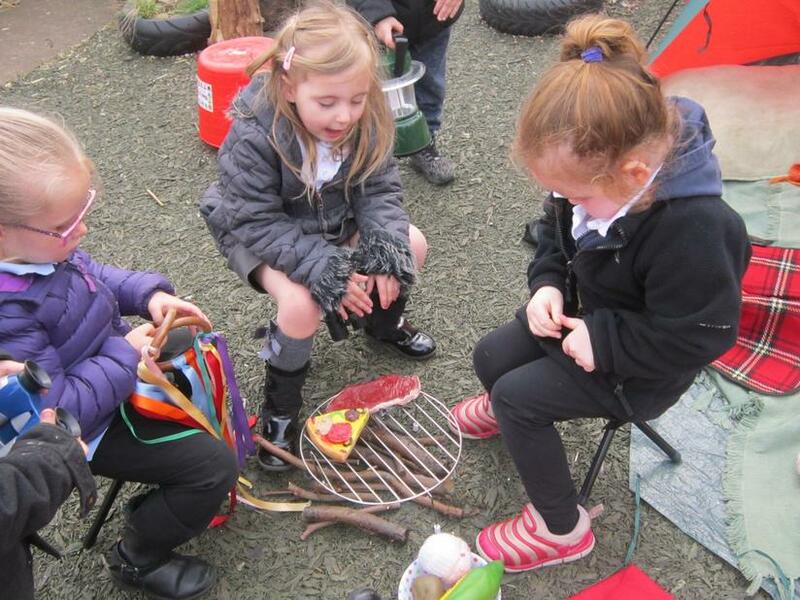 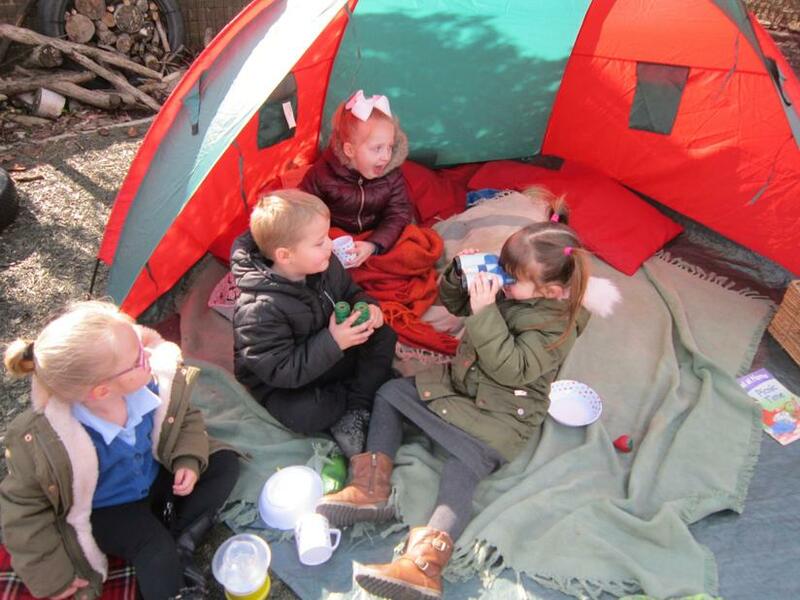 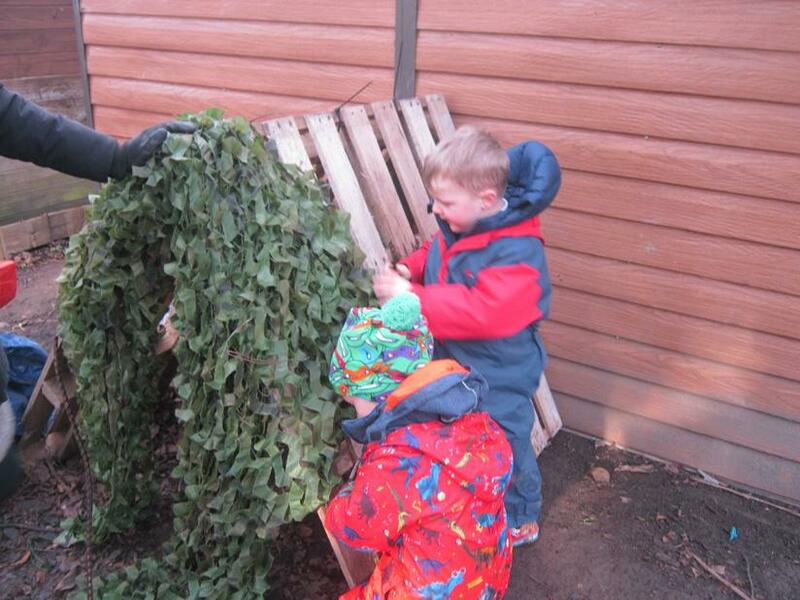 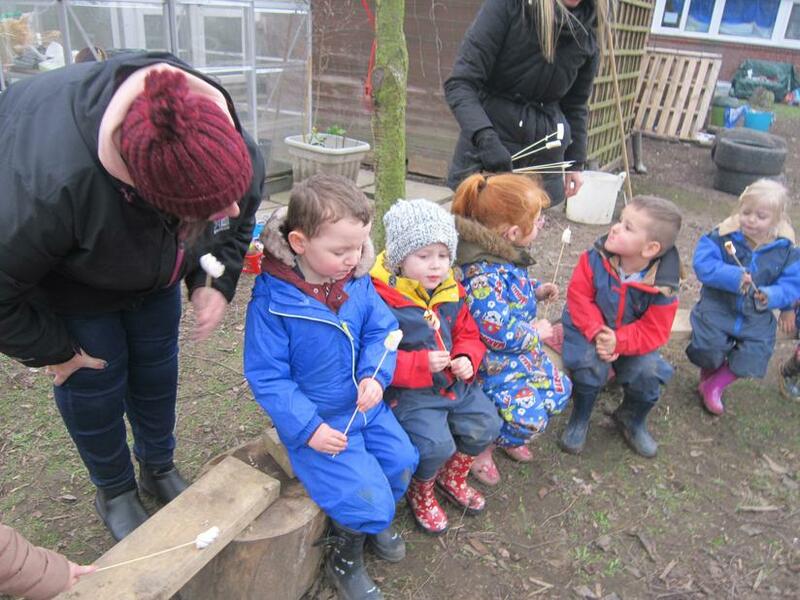 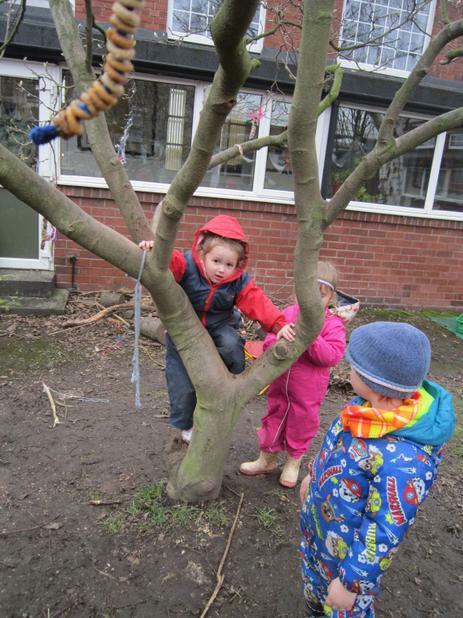 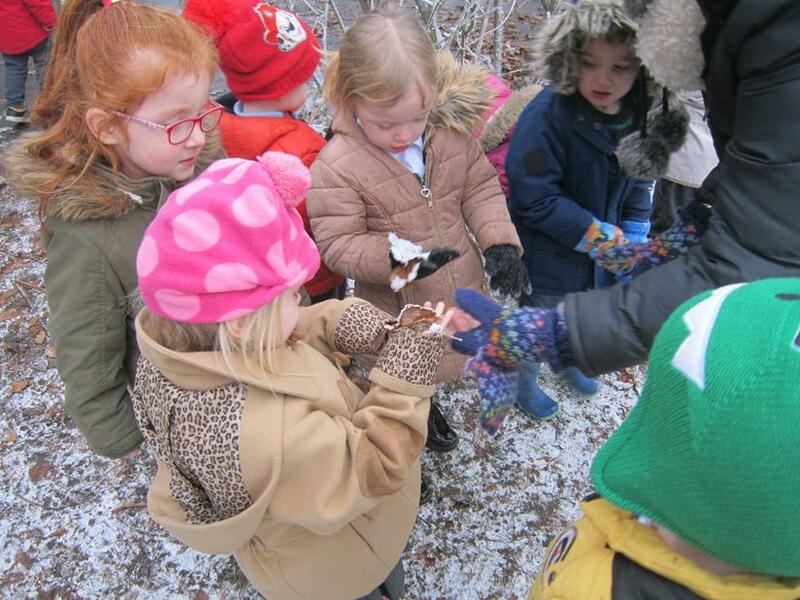 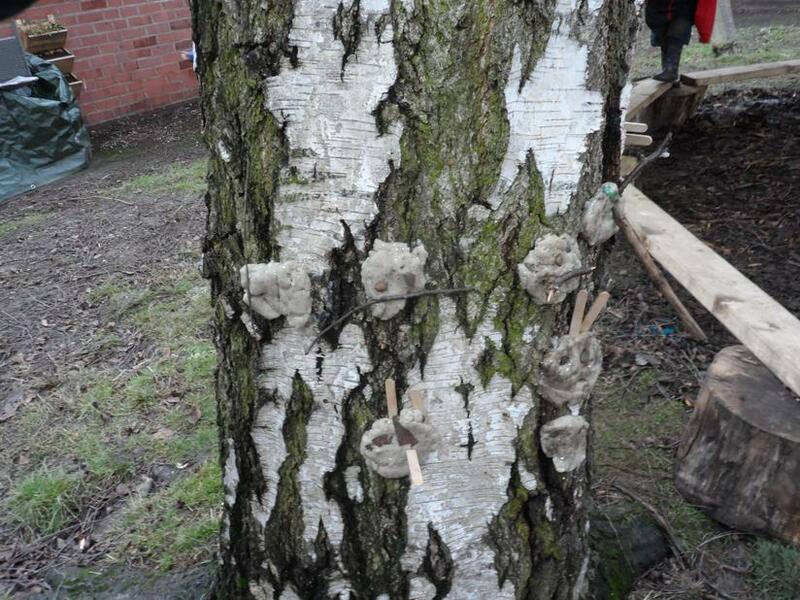 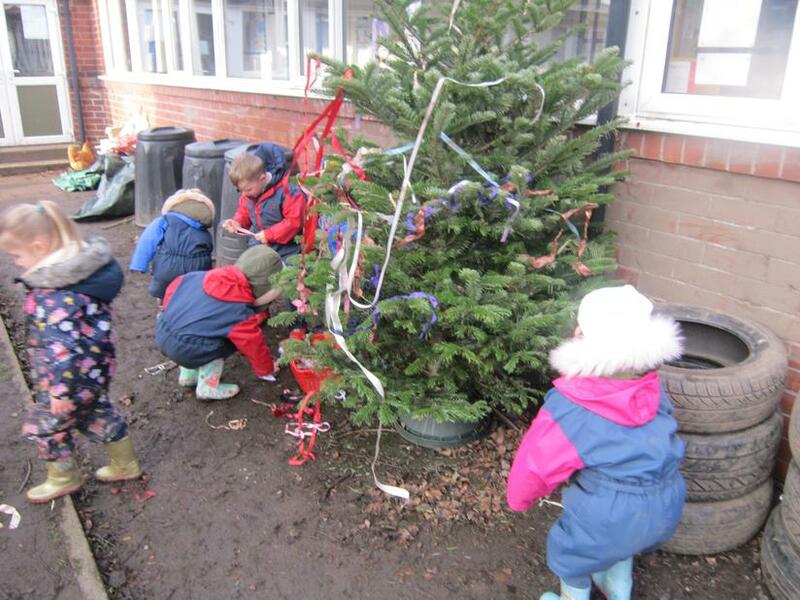 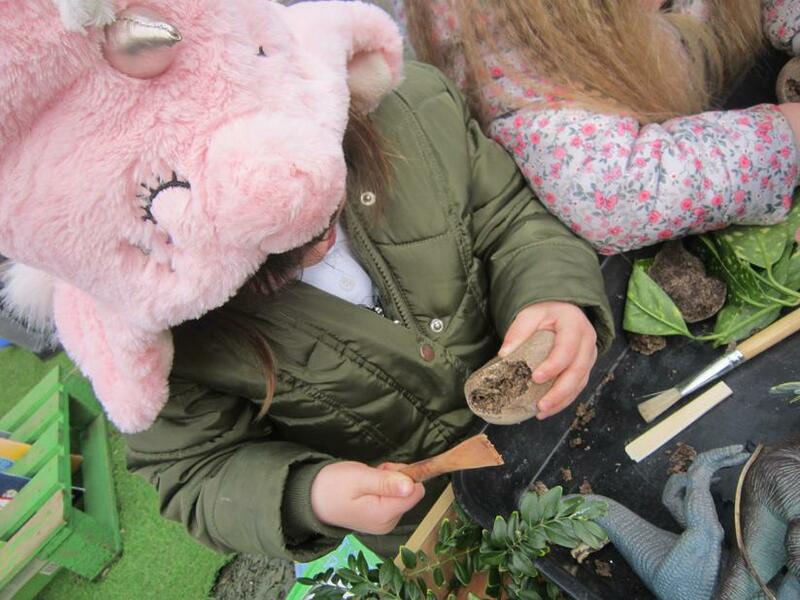 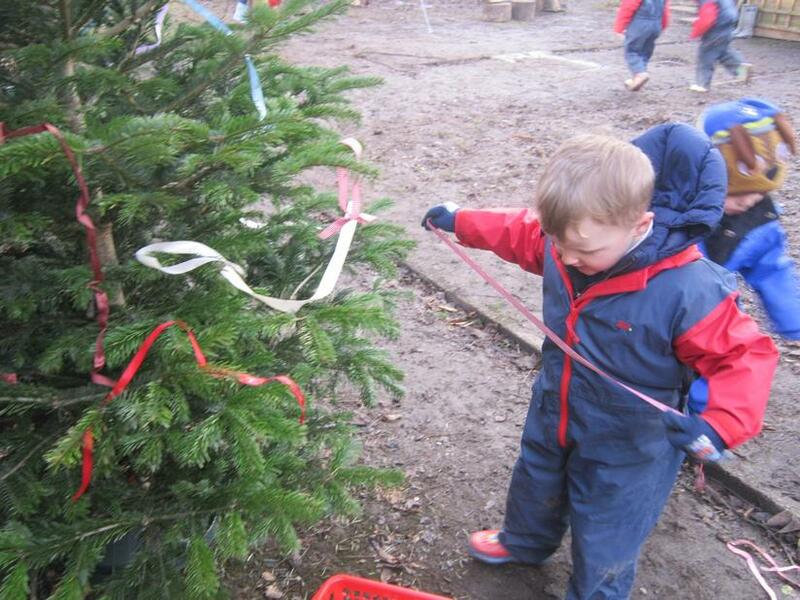 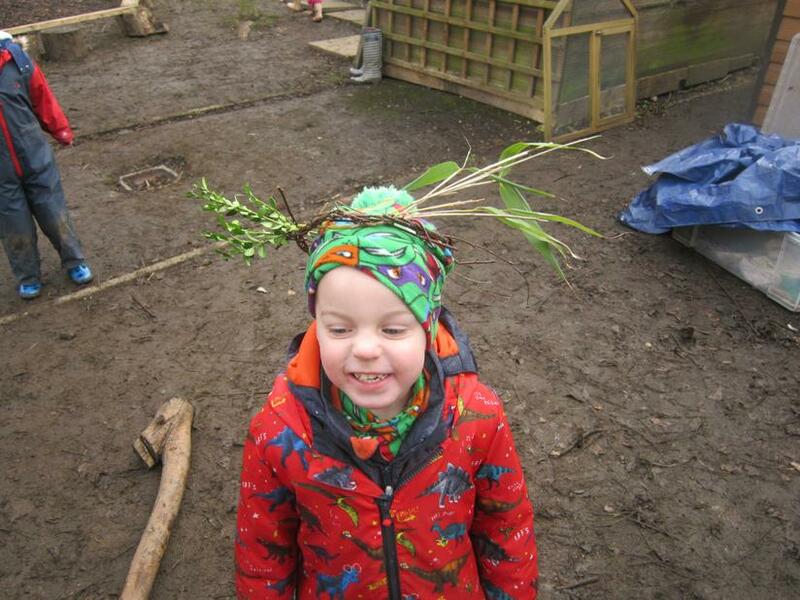 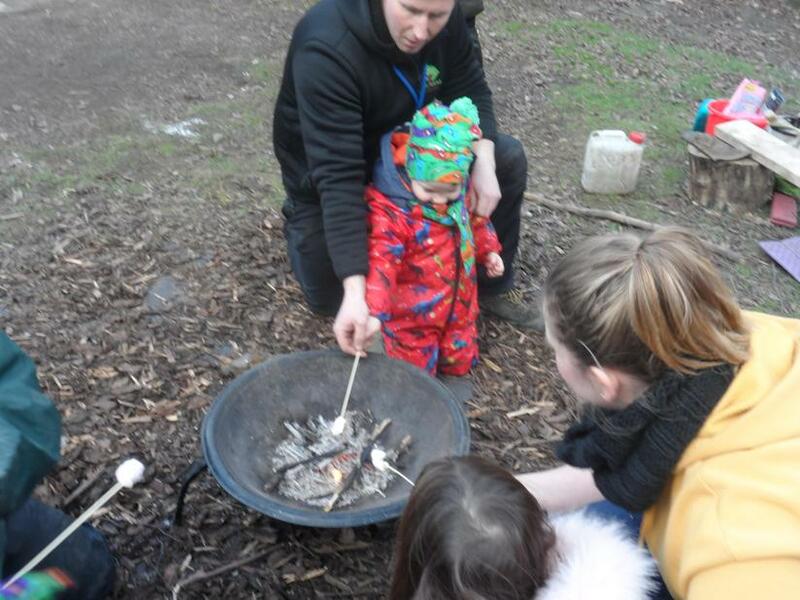 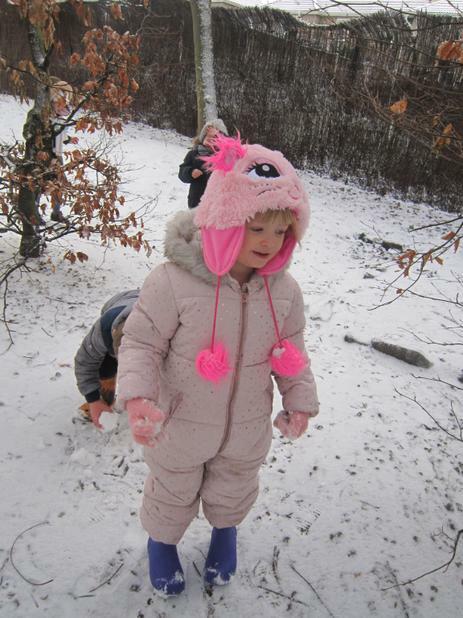 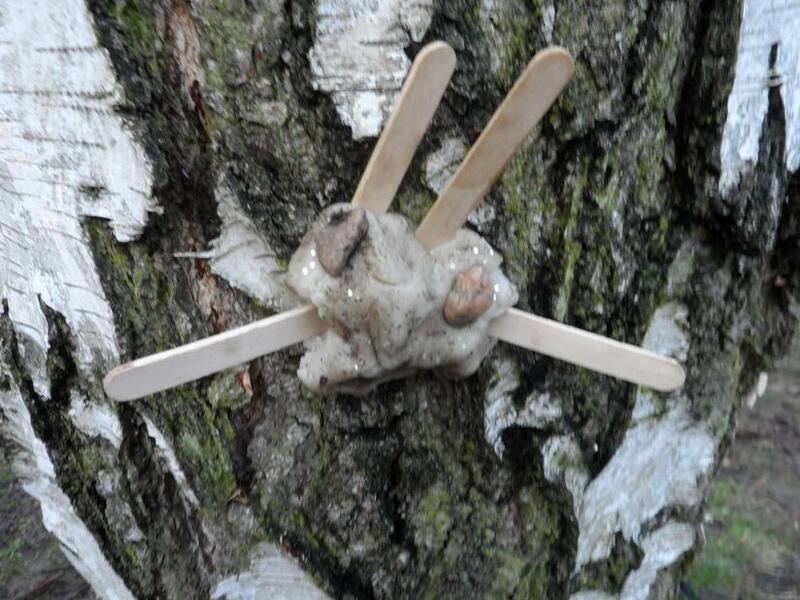 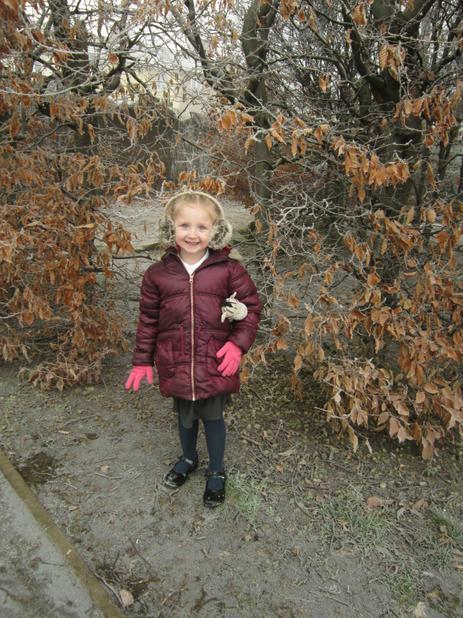 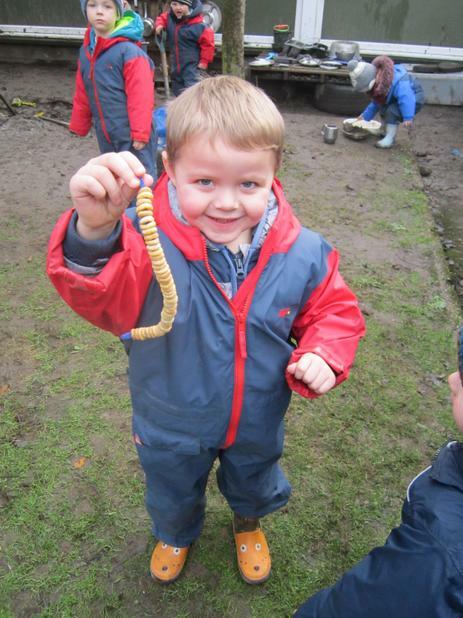 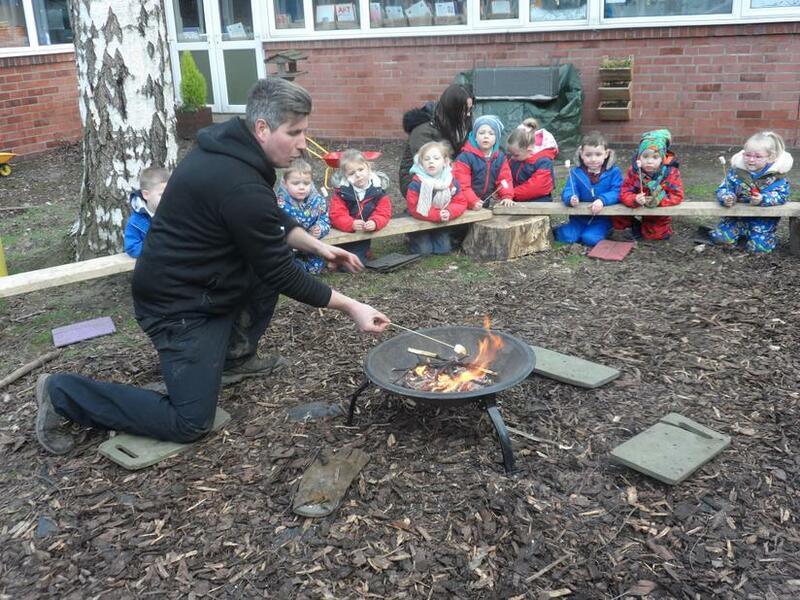 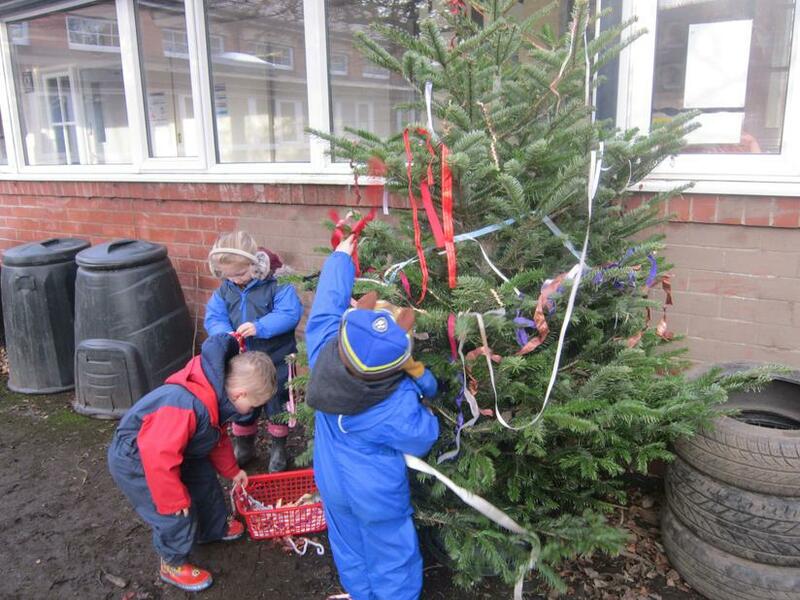 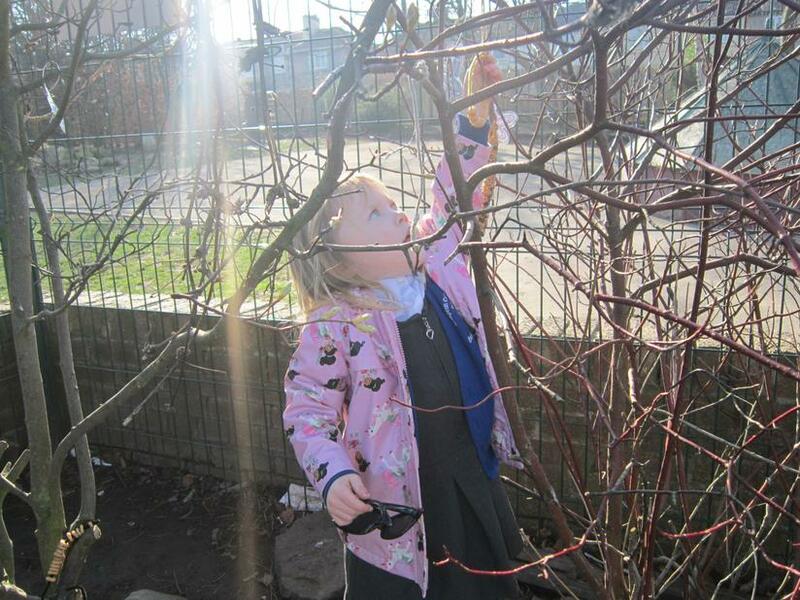 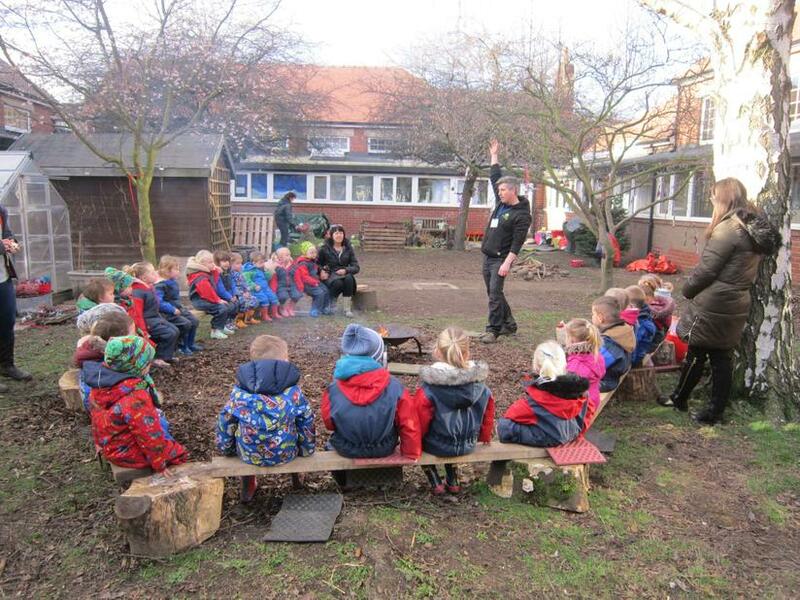 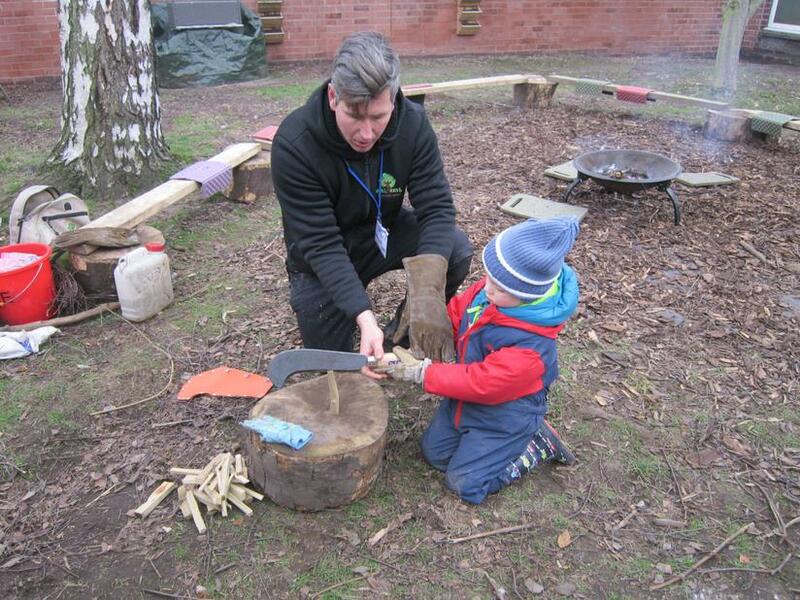 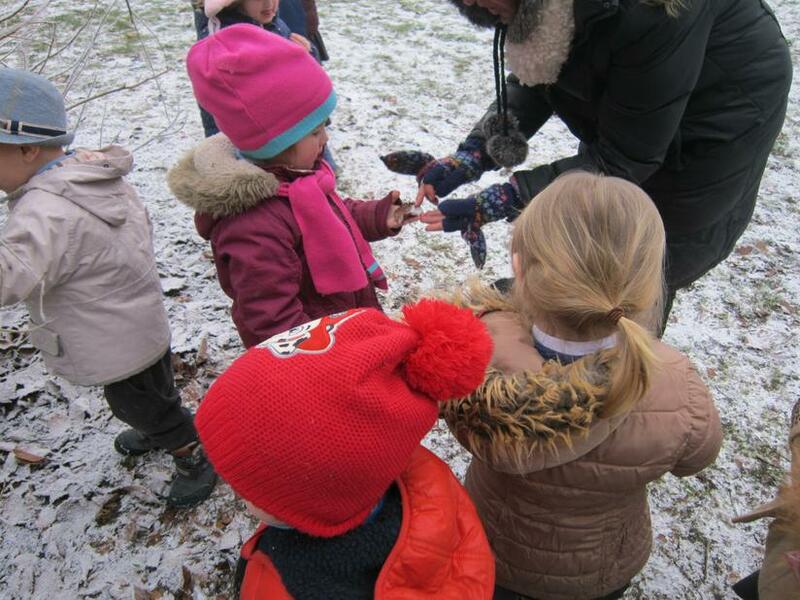 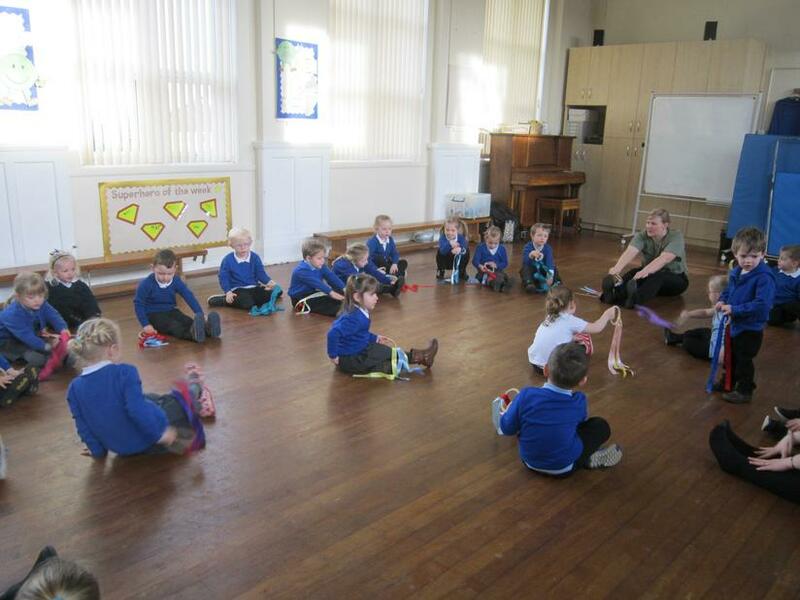 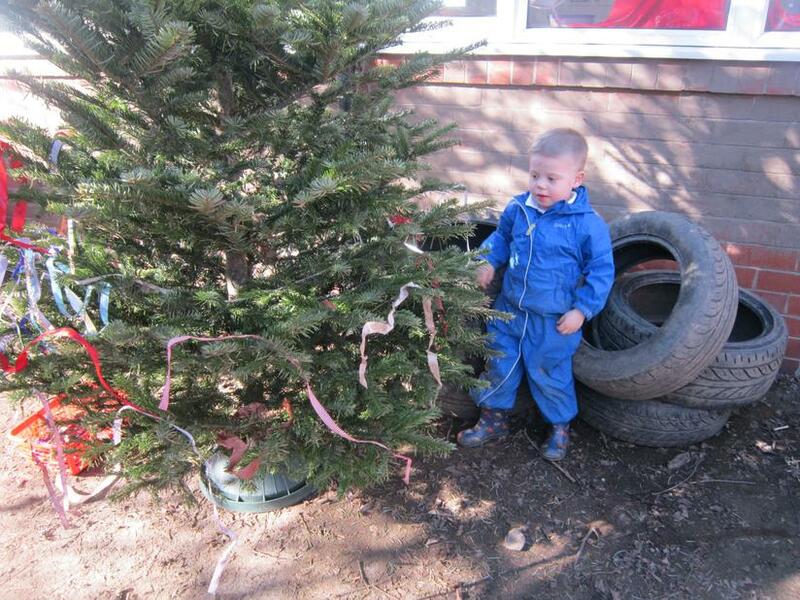 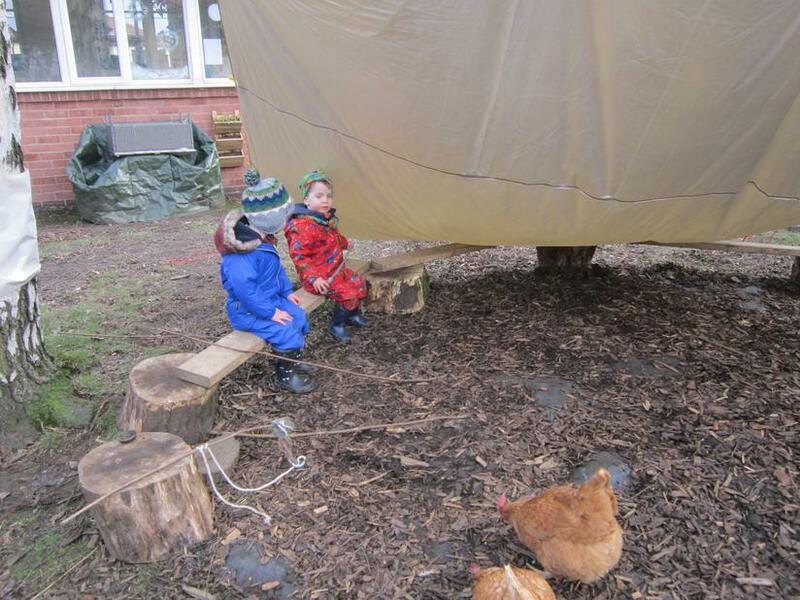 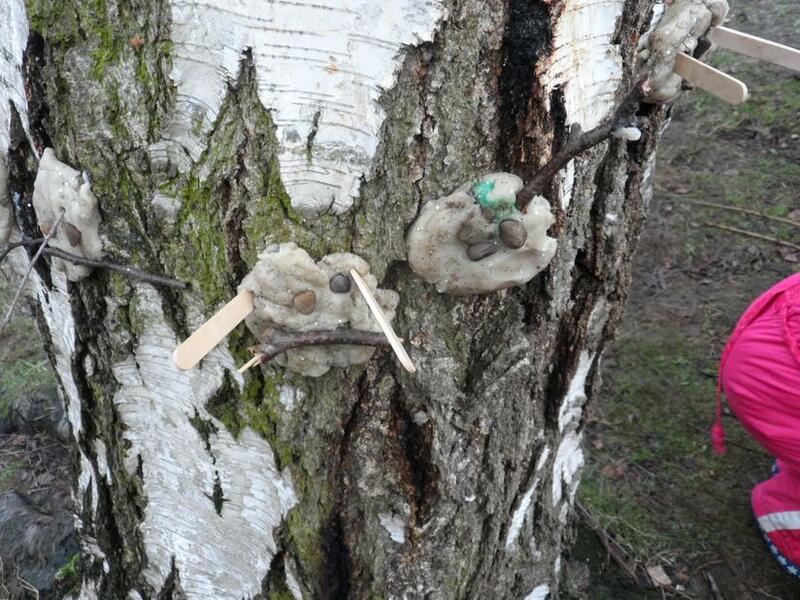 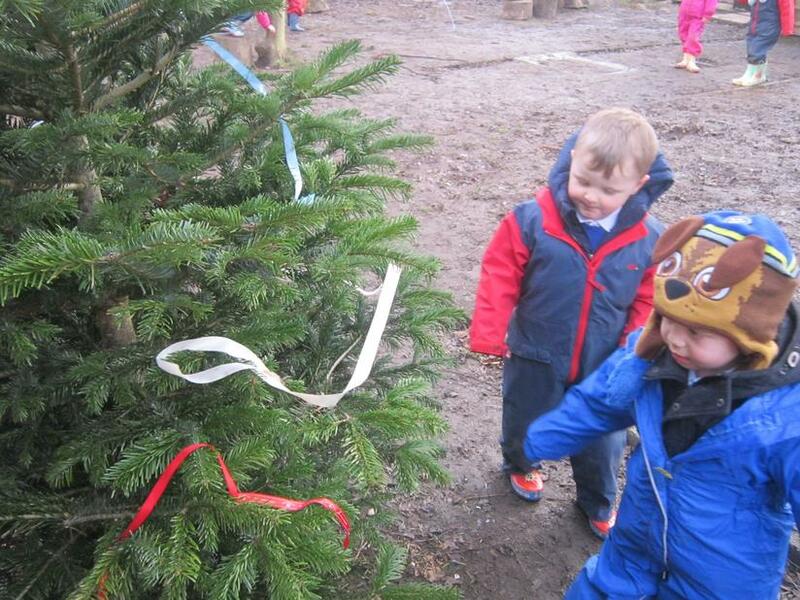 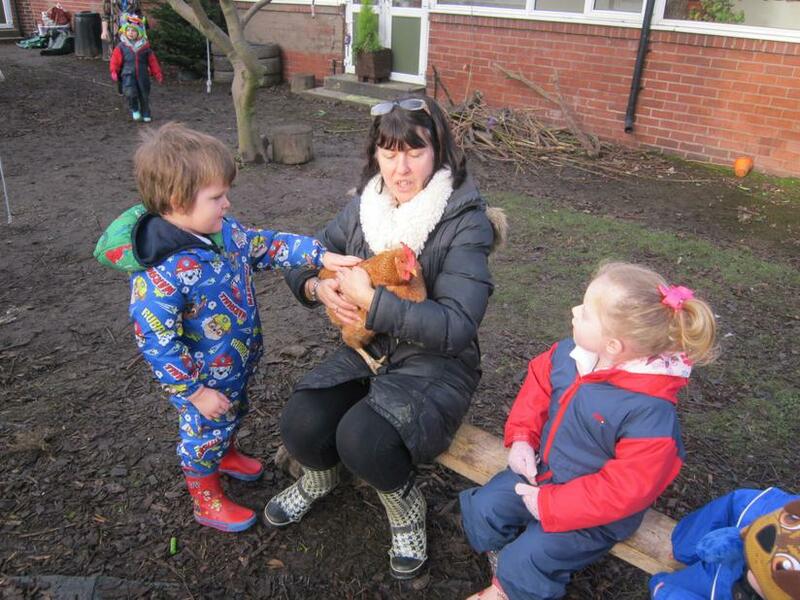 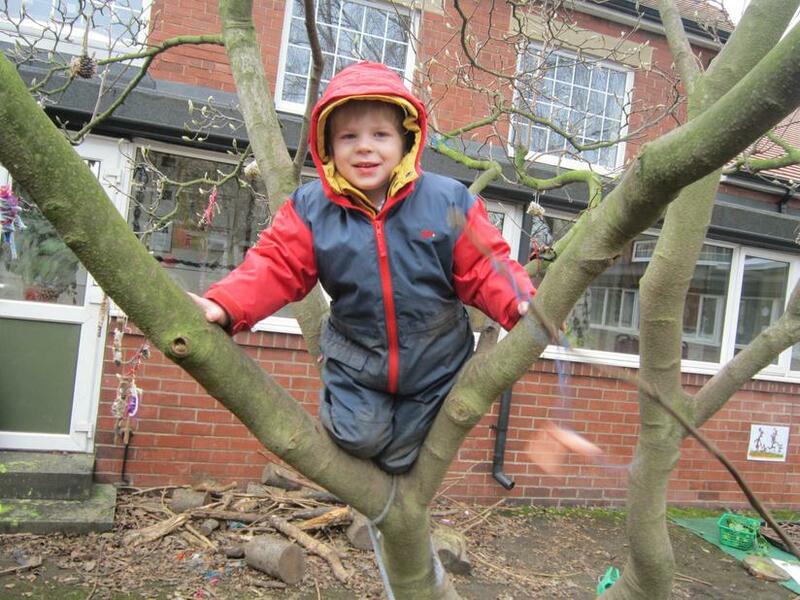 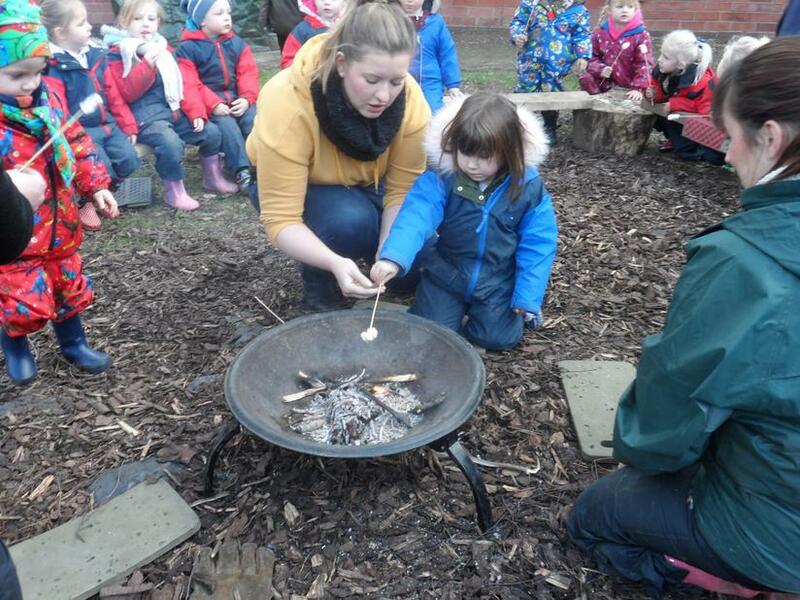 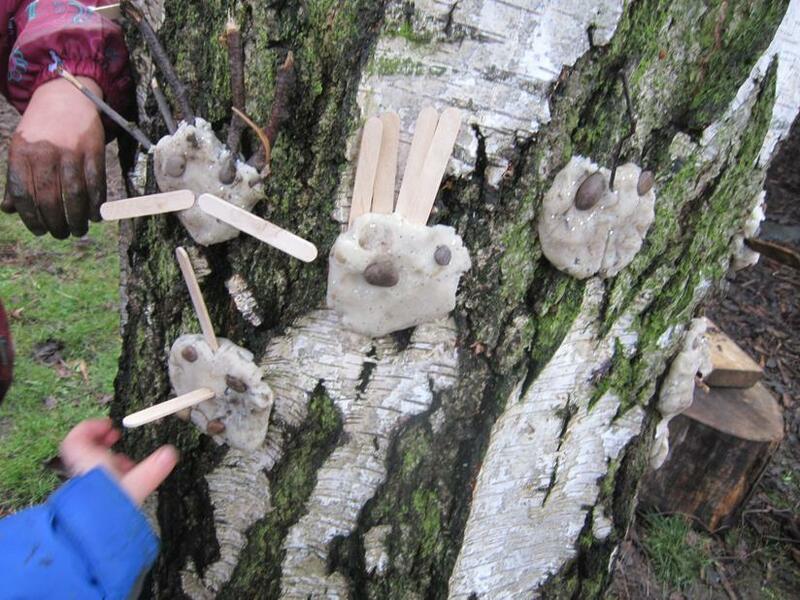 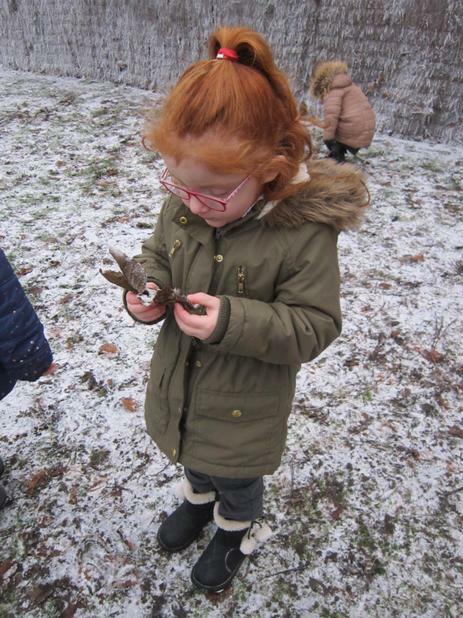 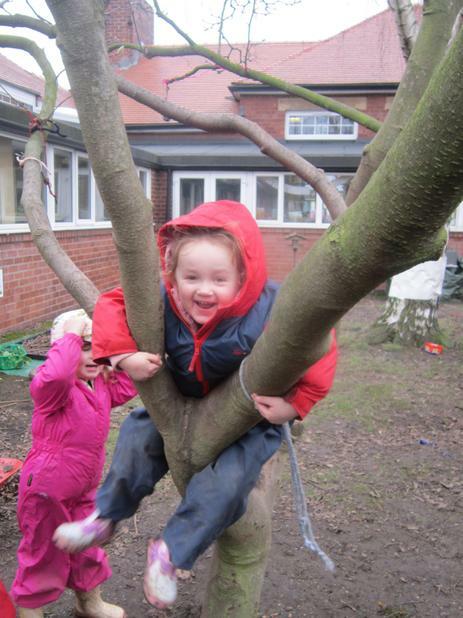 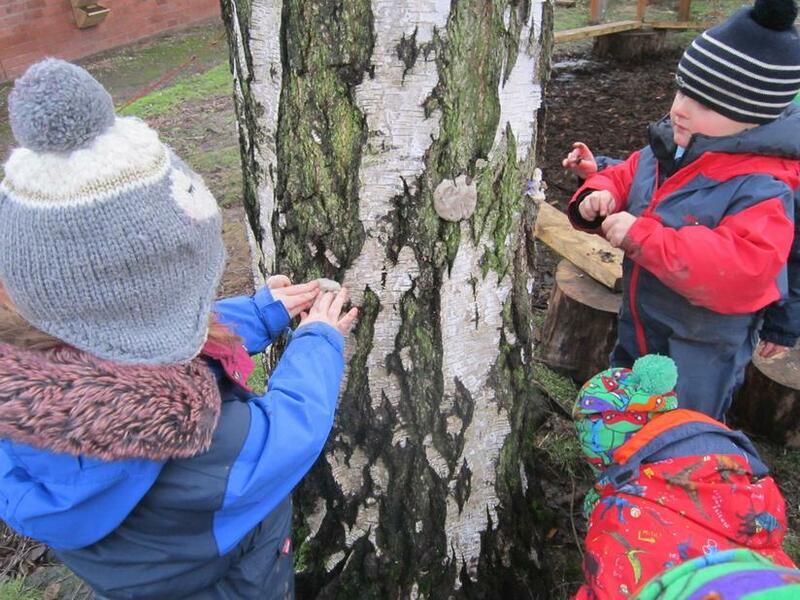 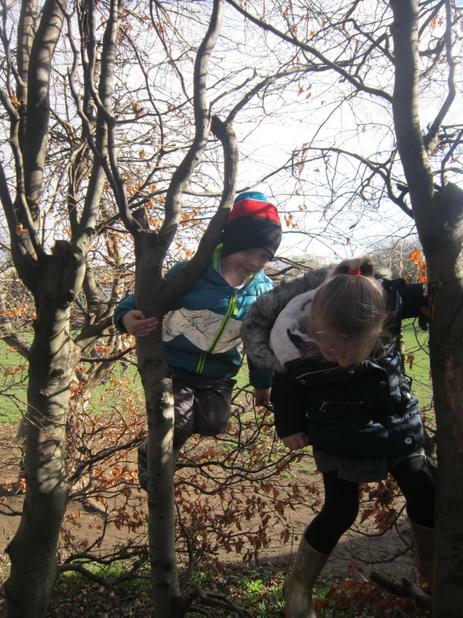 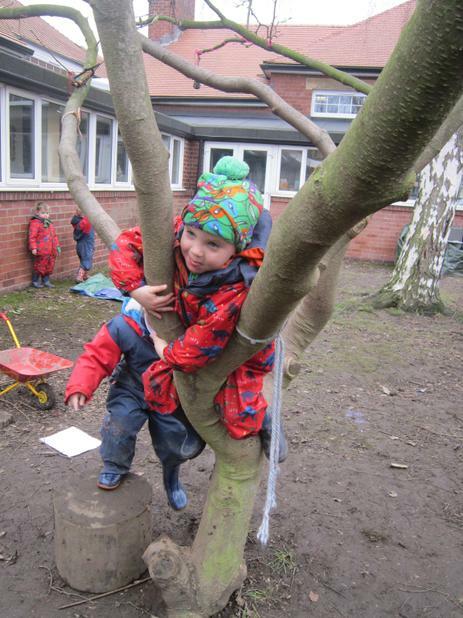 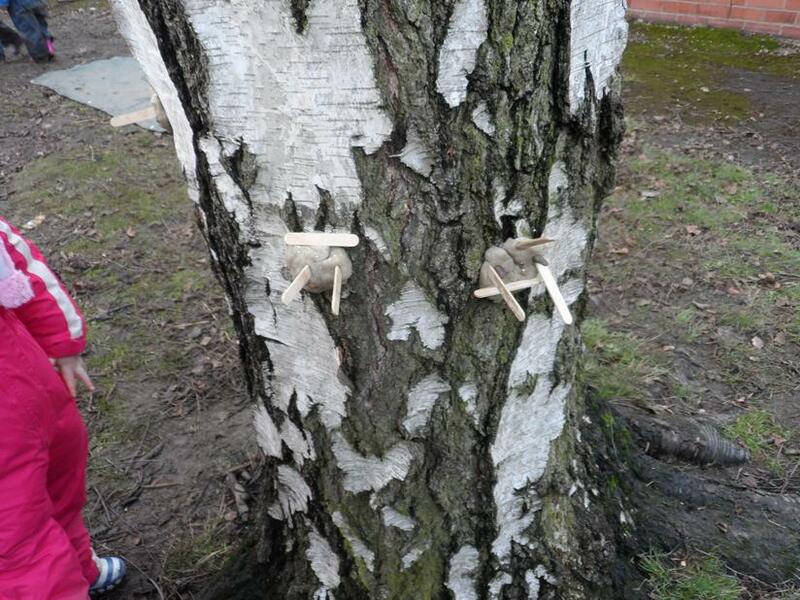 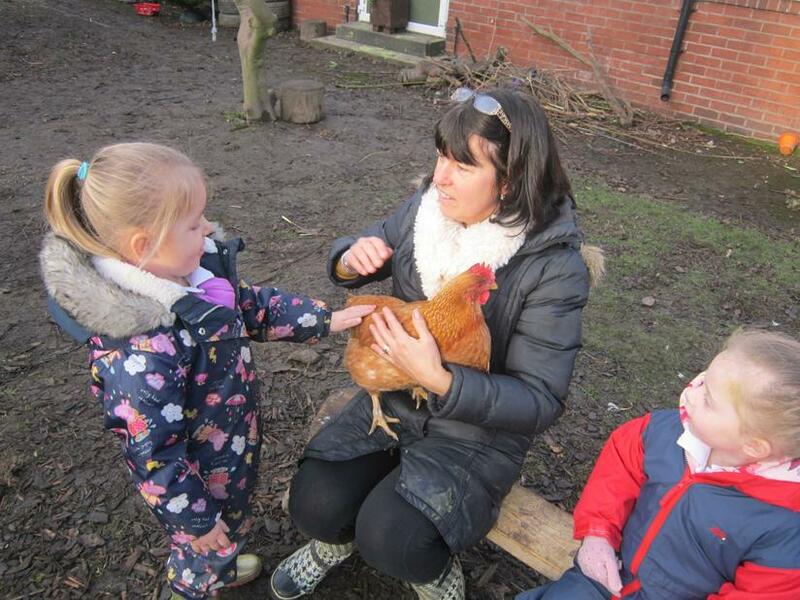 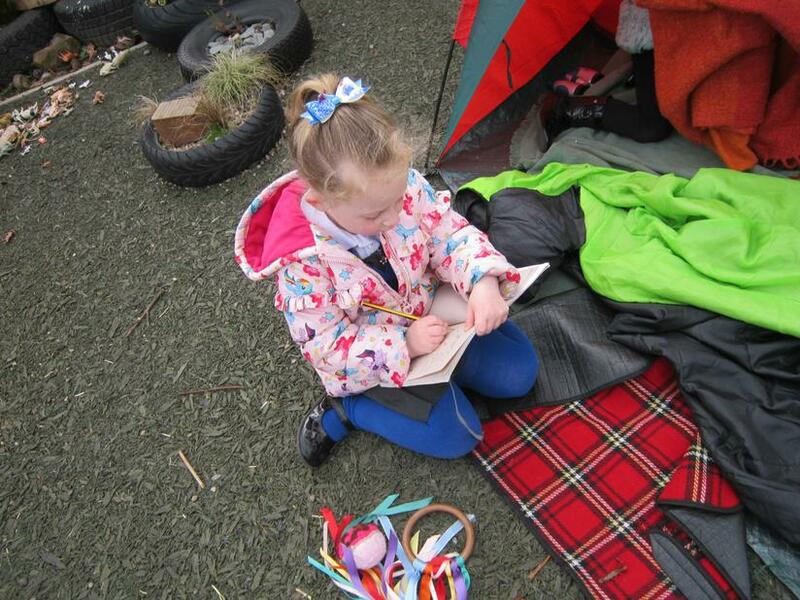 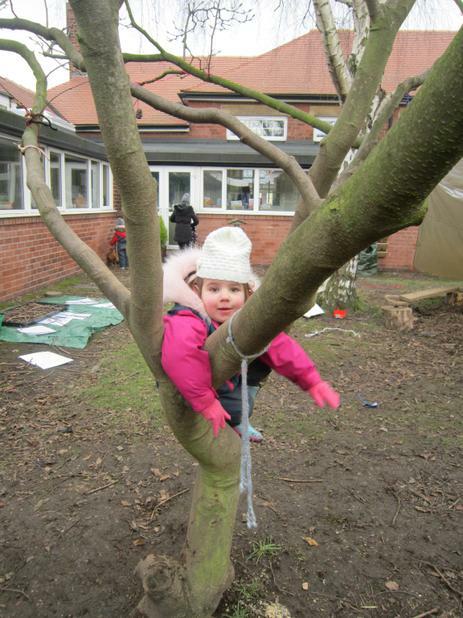 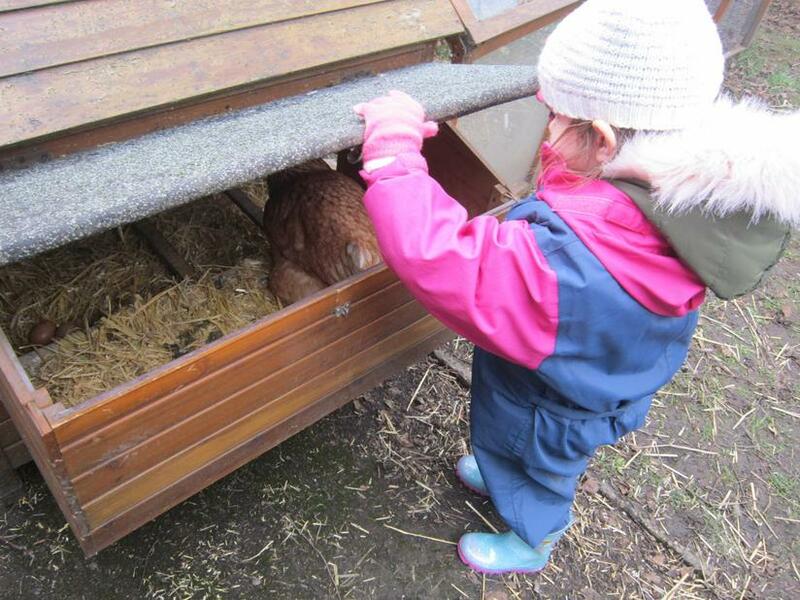 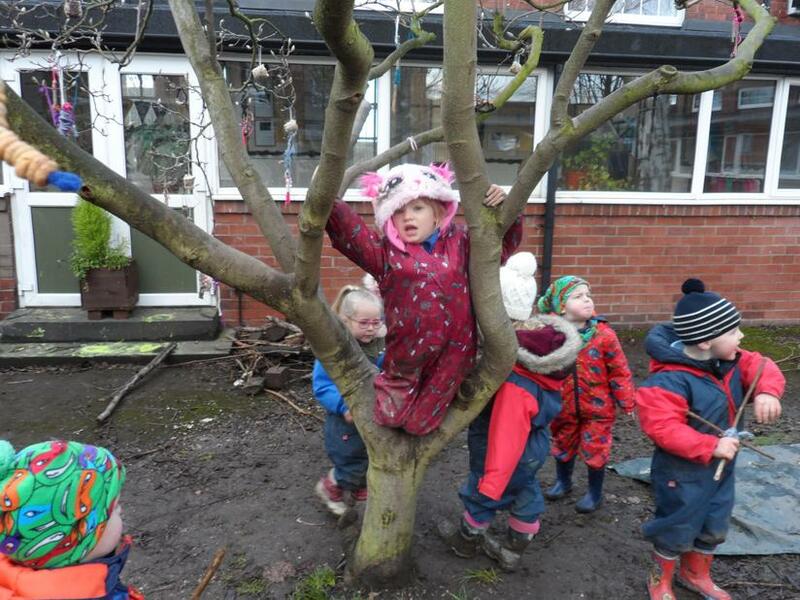 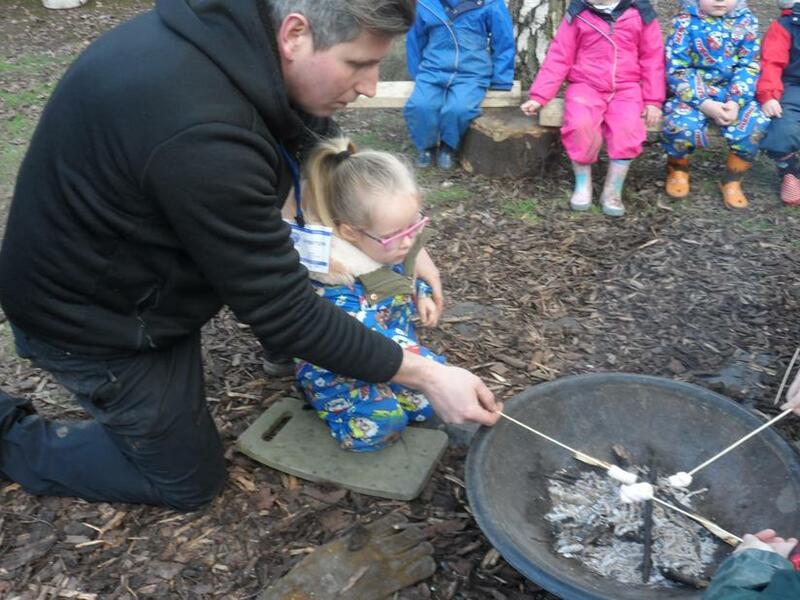 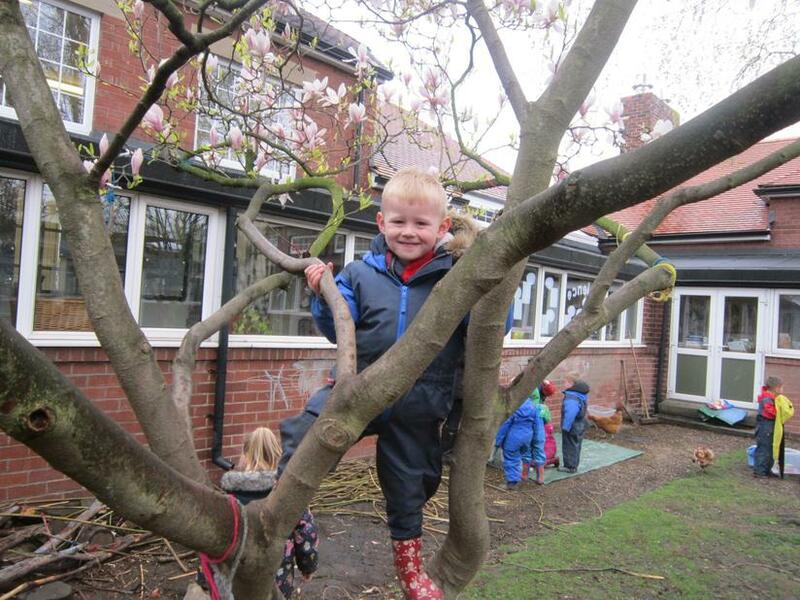 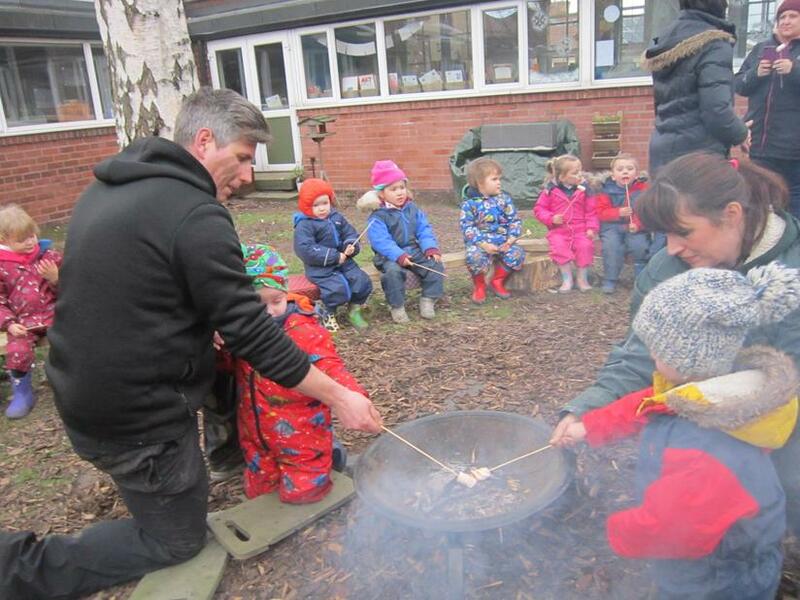 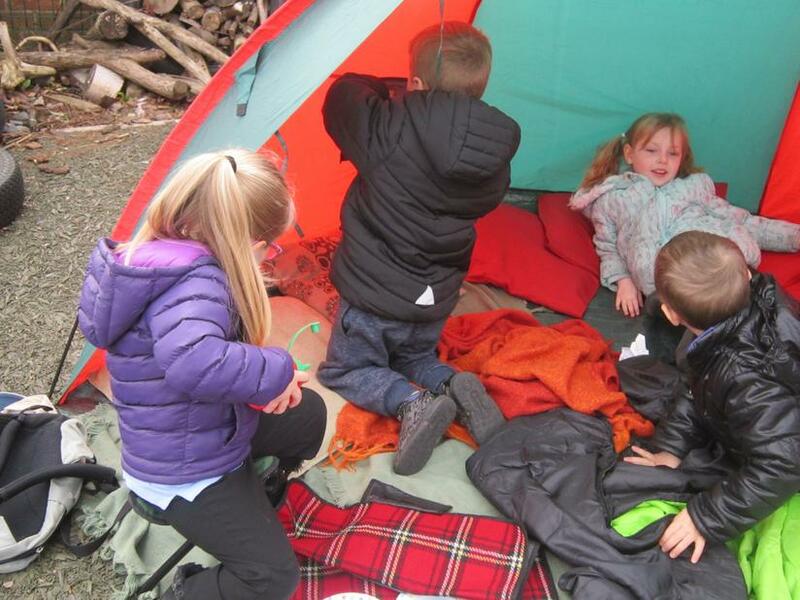 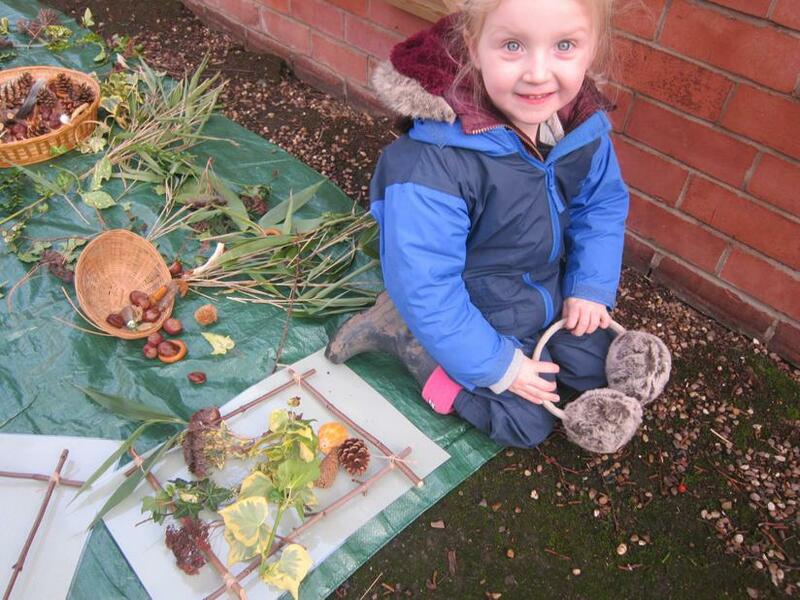 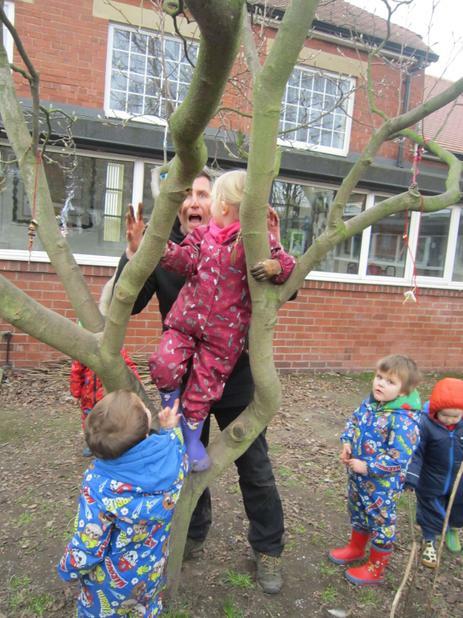 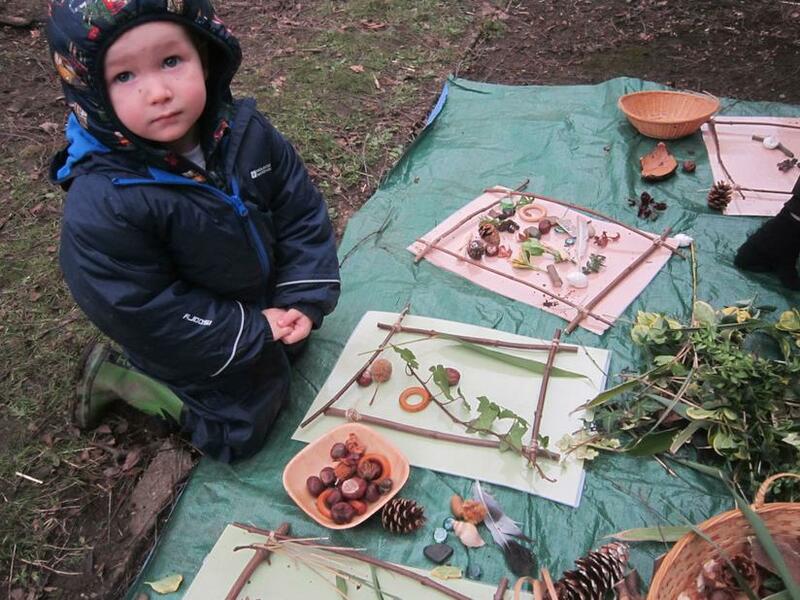 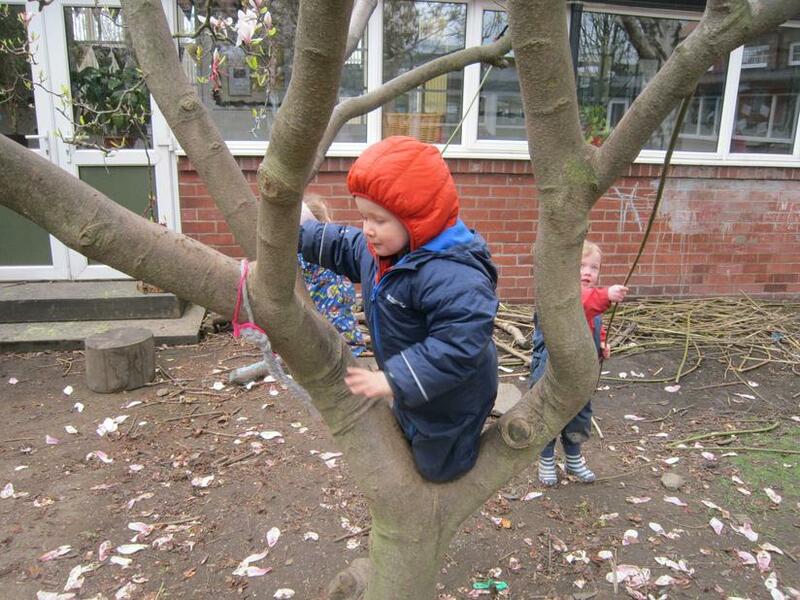 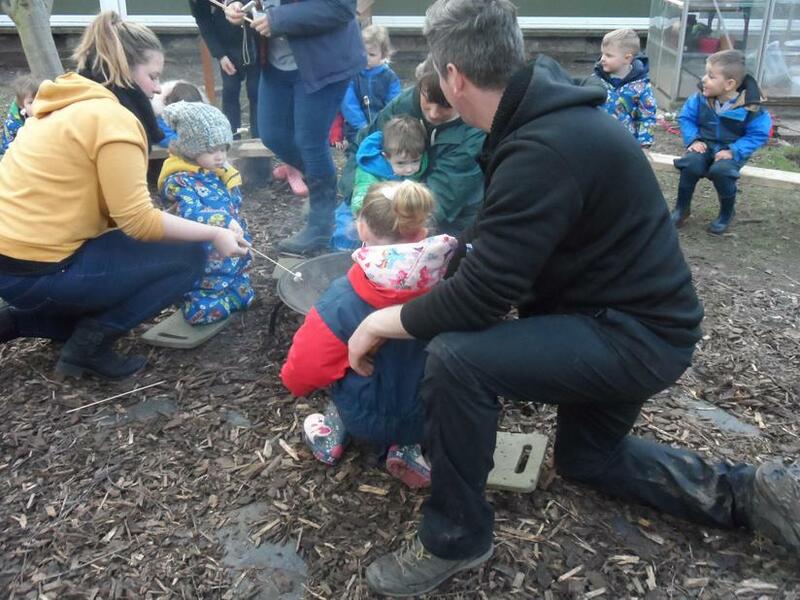 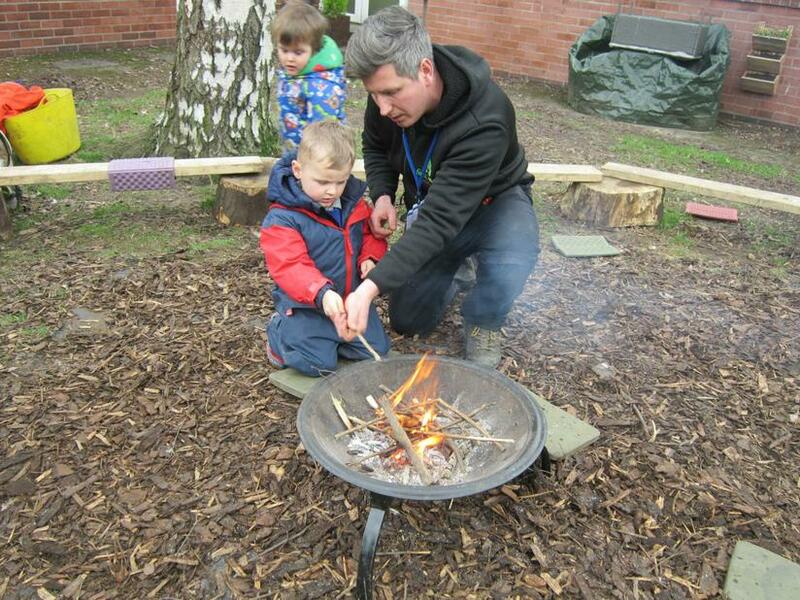 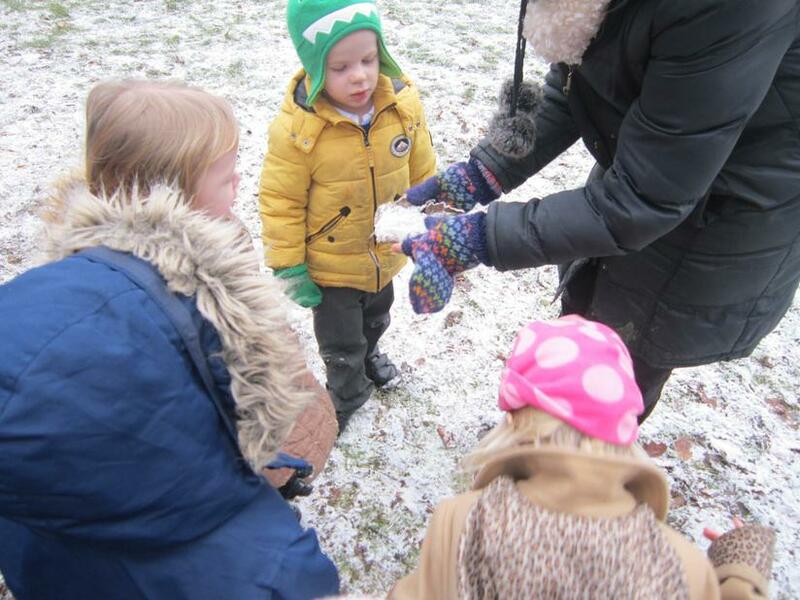 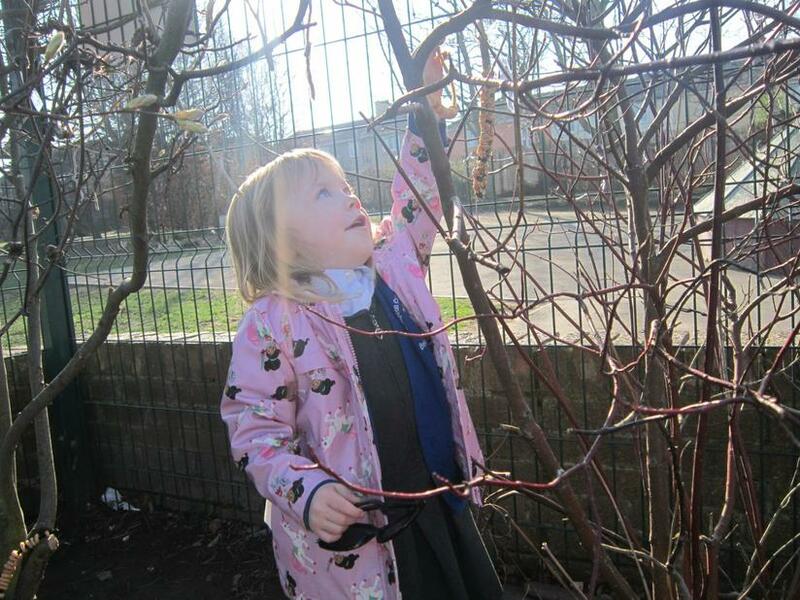 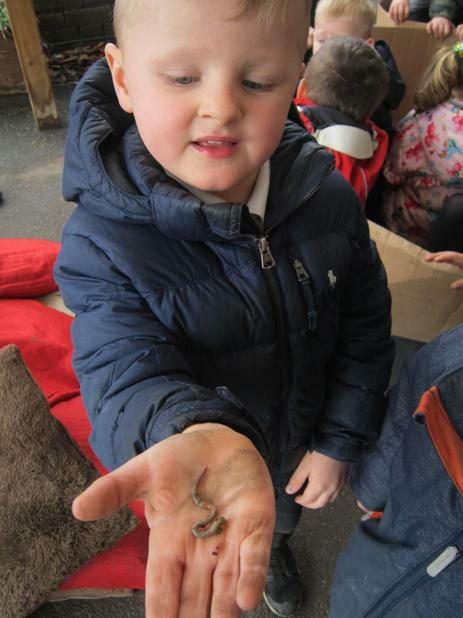 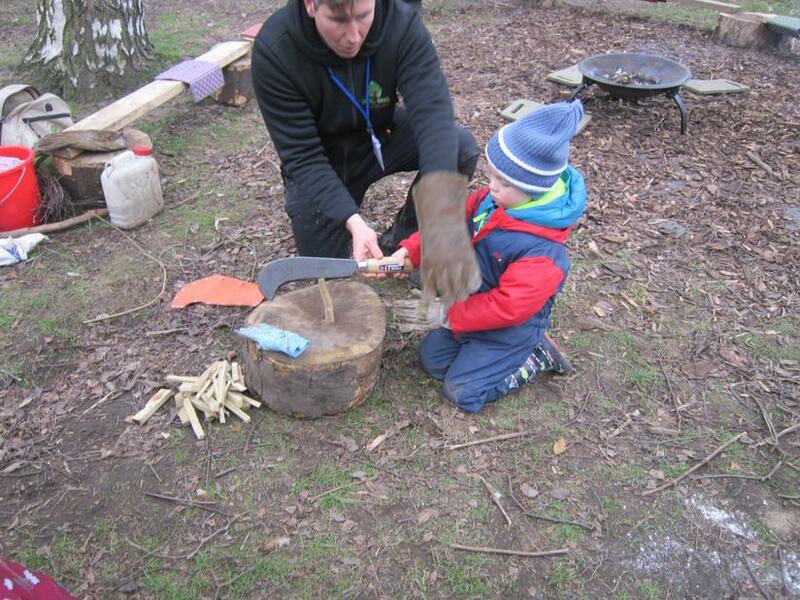 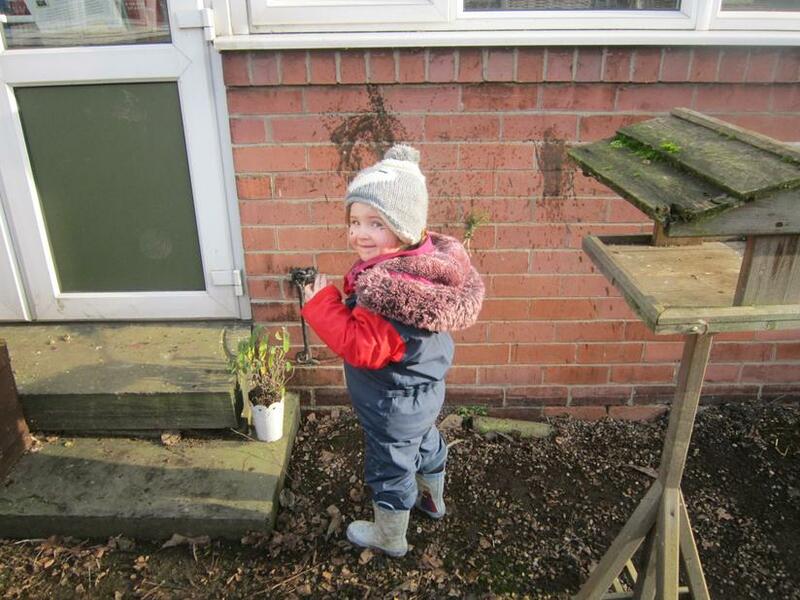 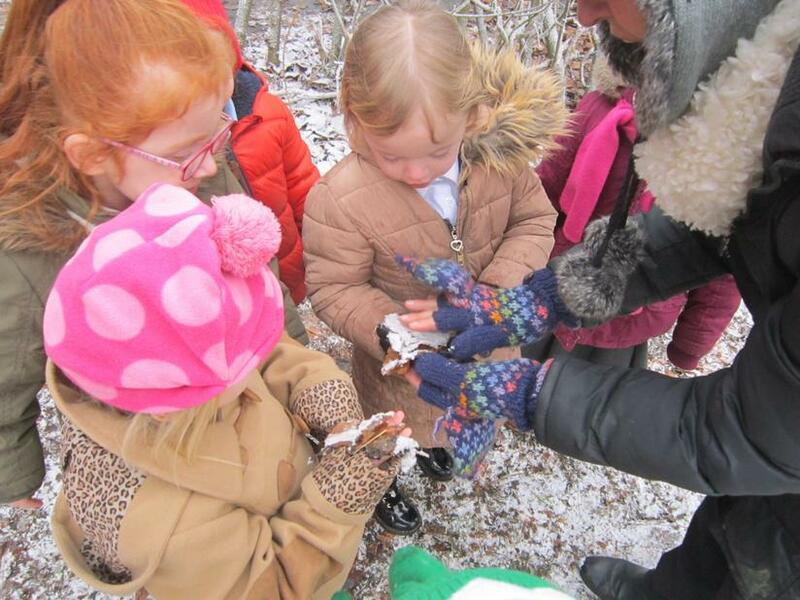 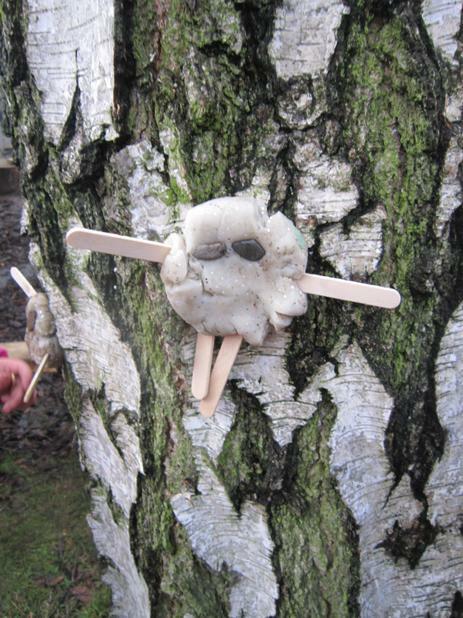 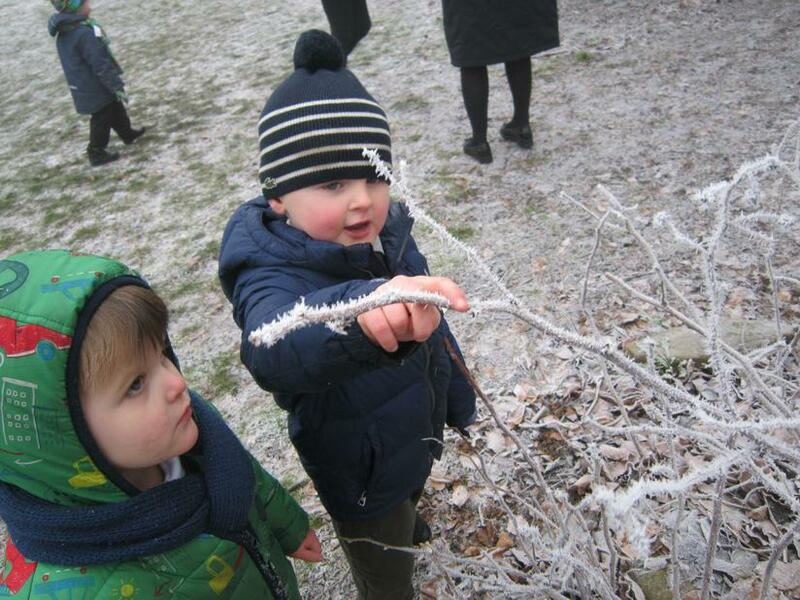 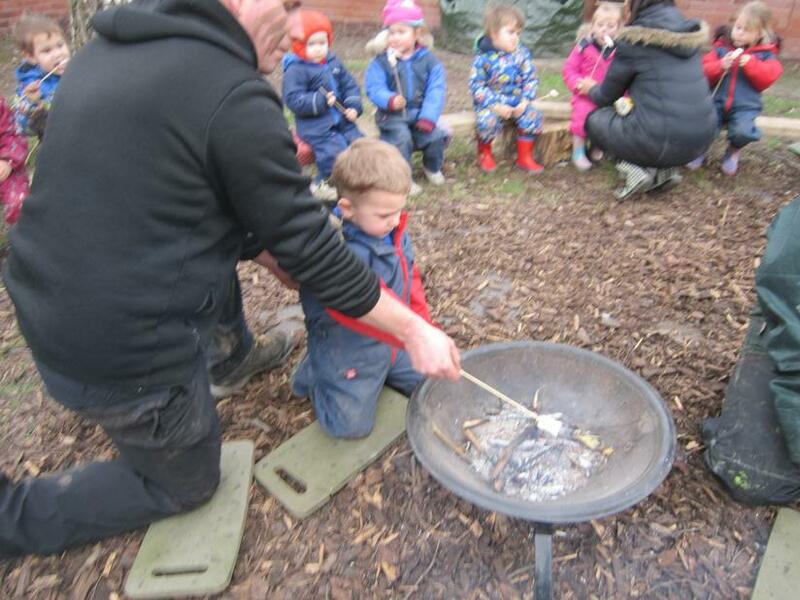 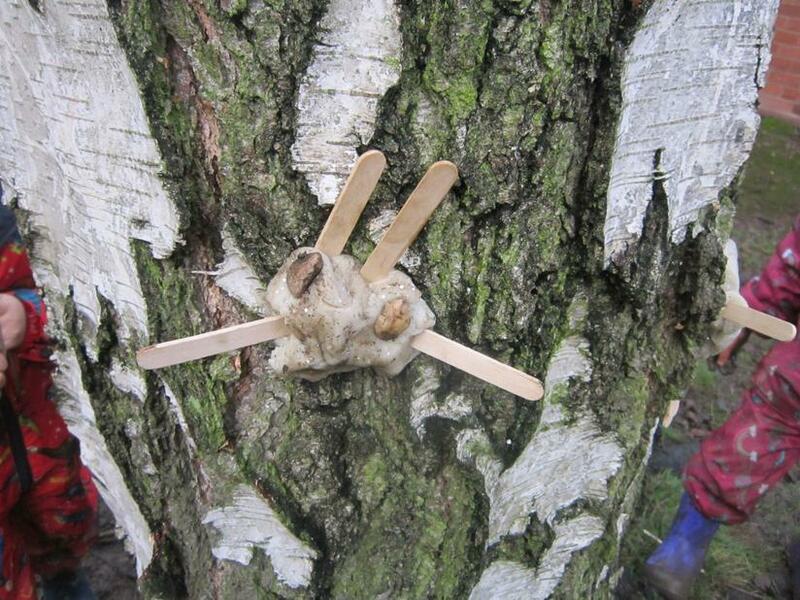 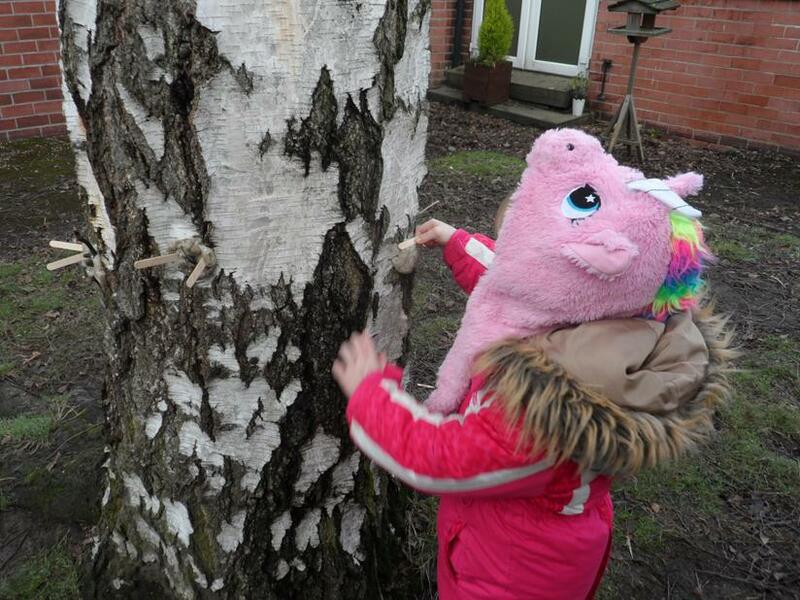 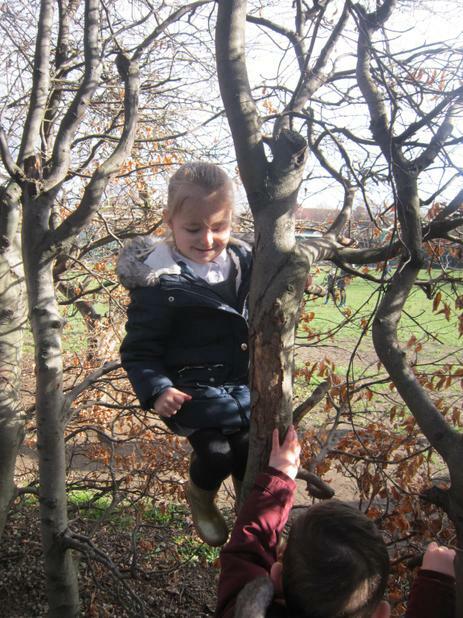 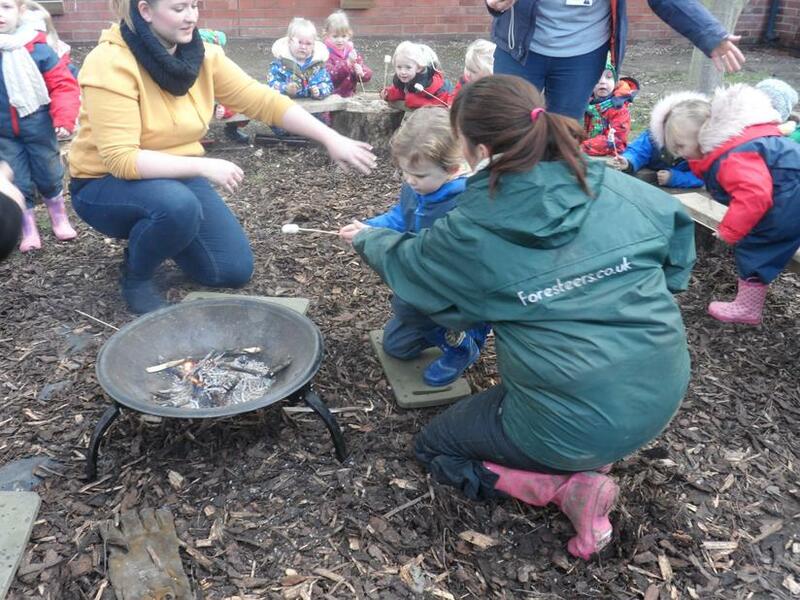 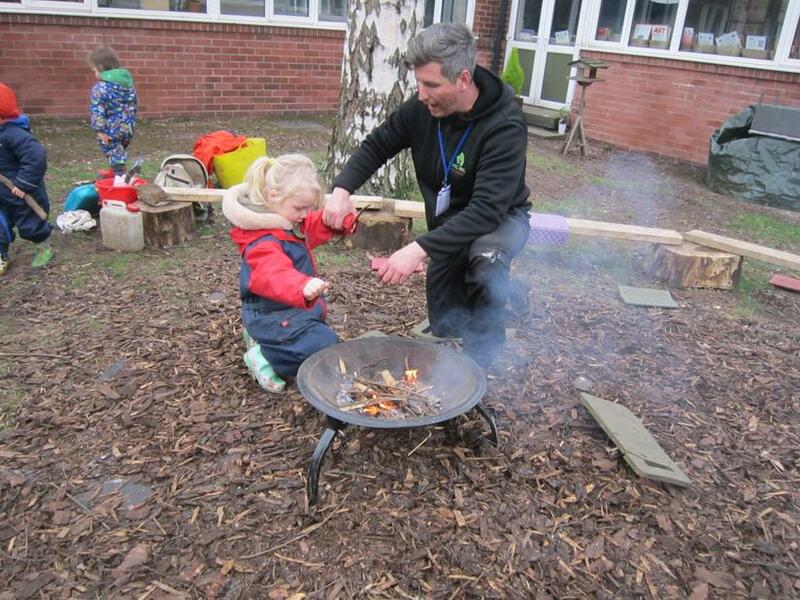 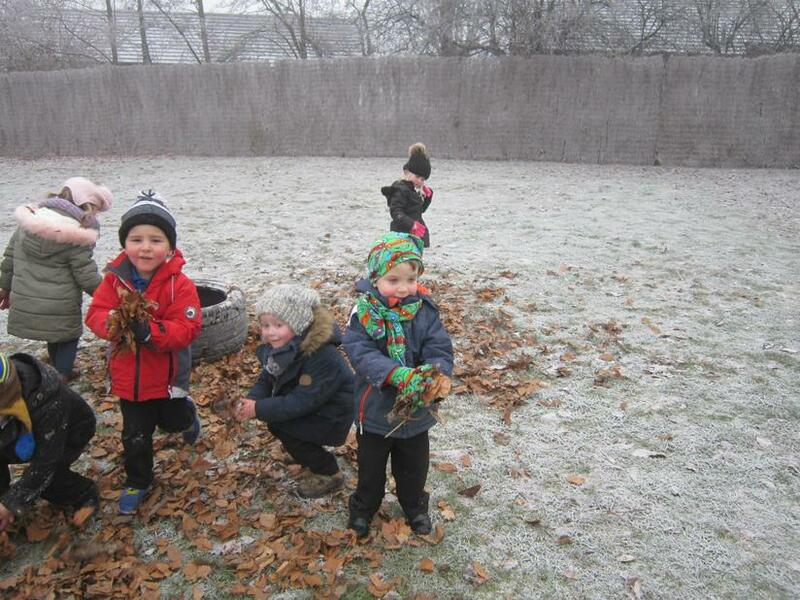 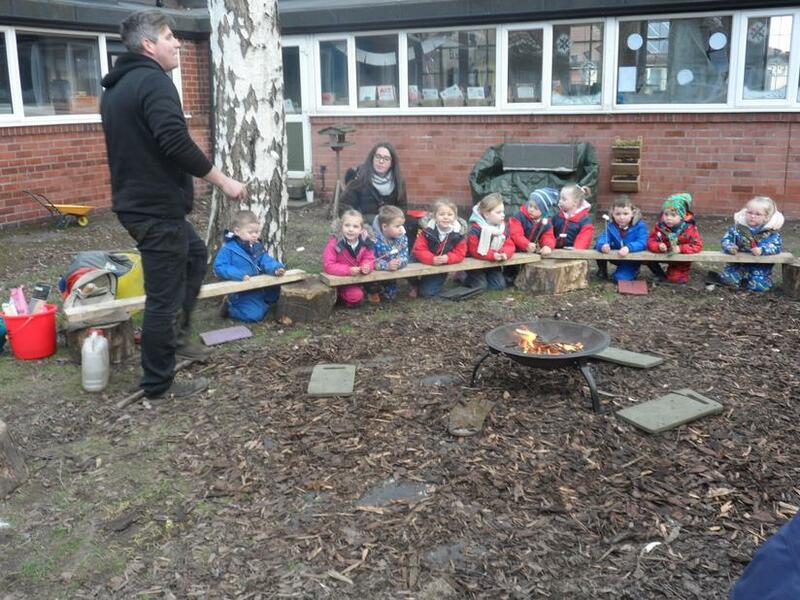 Our forest school adventures this week. 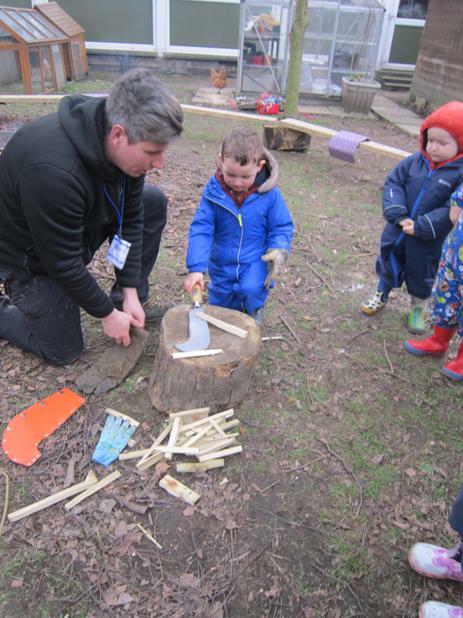 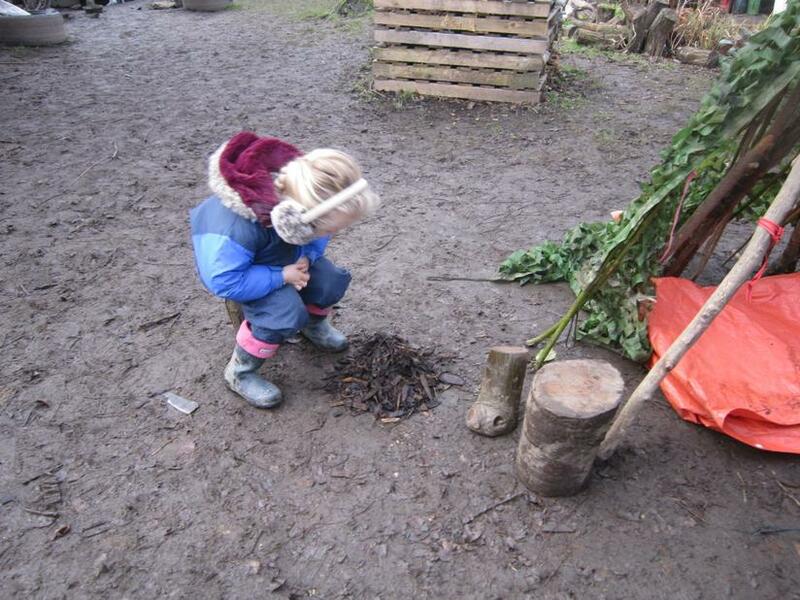 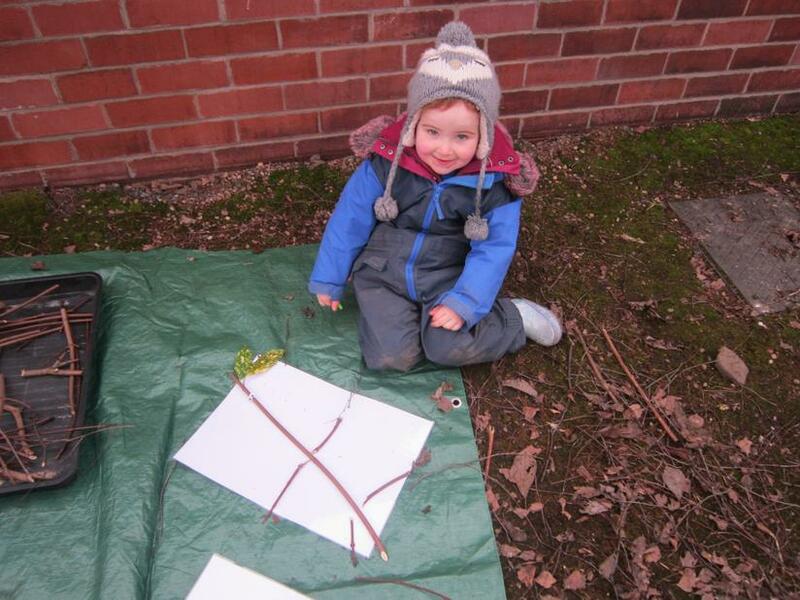 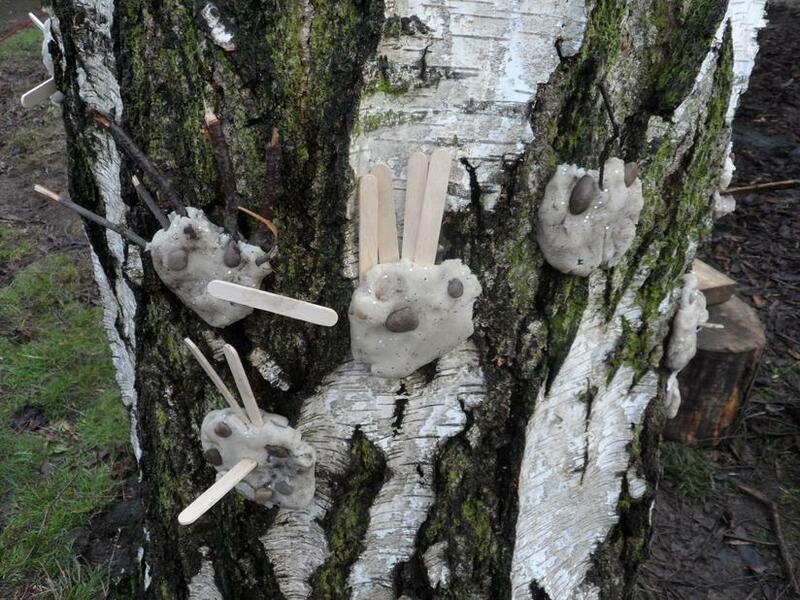 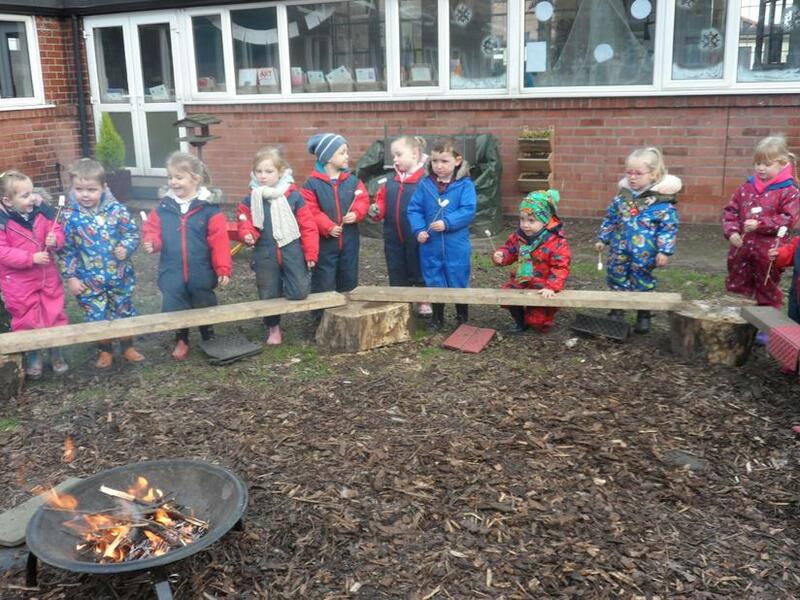 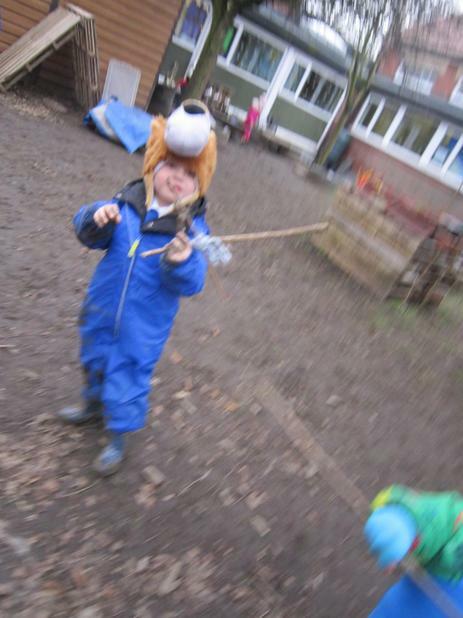 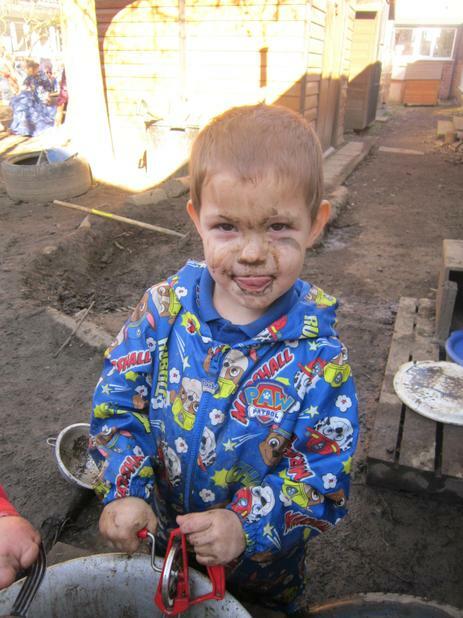 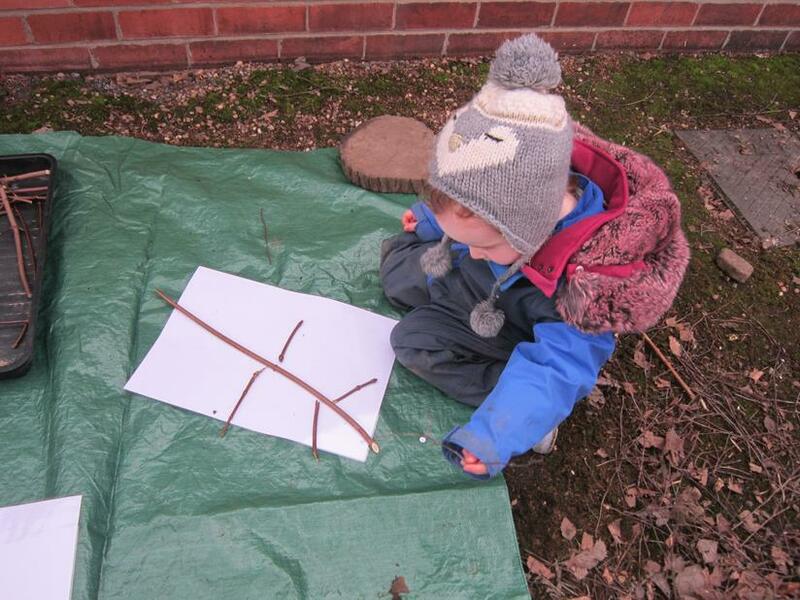 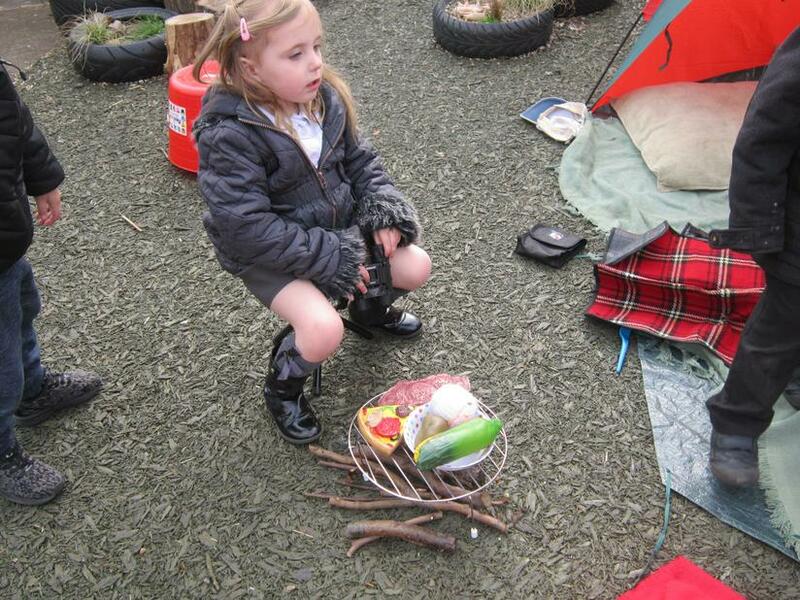 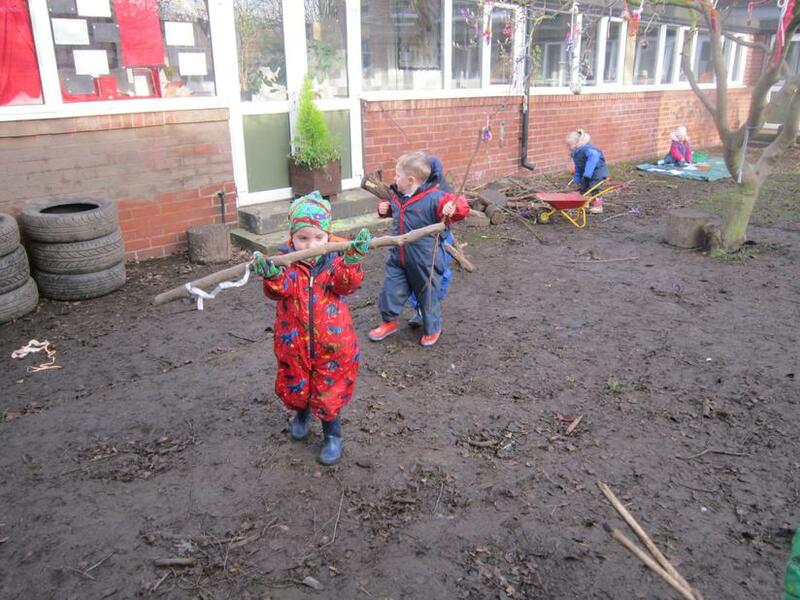 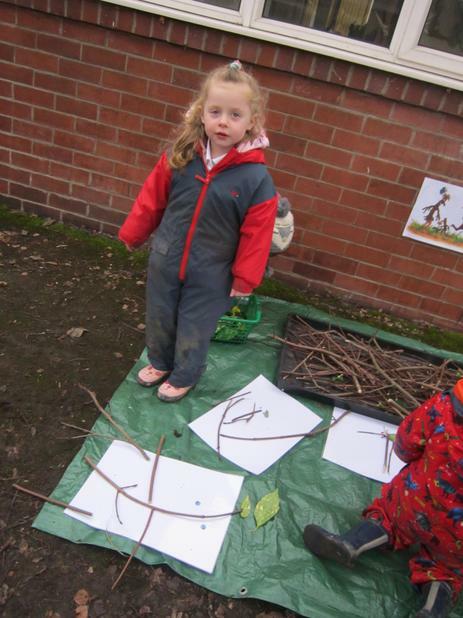 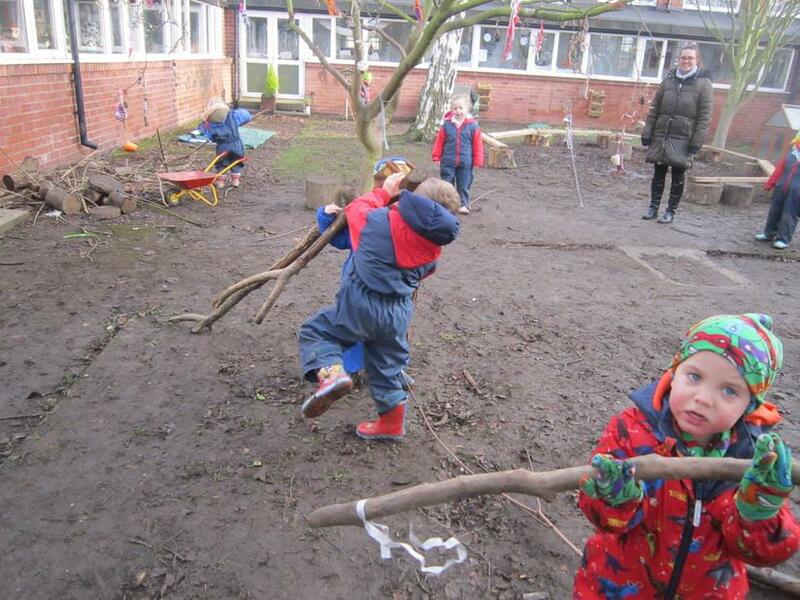 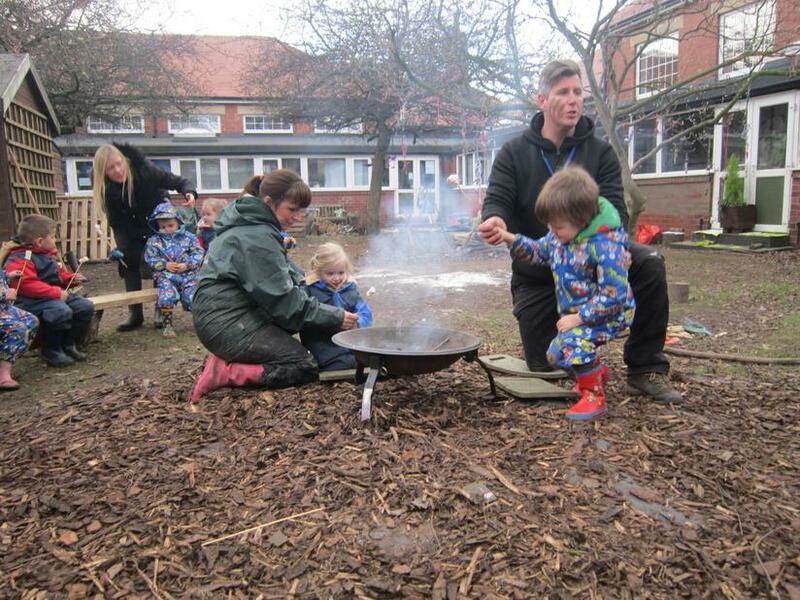 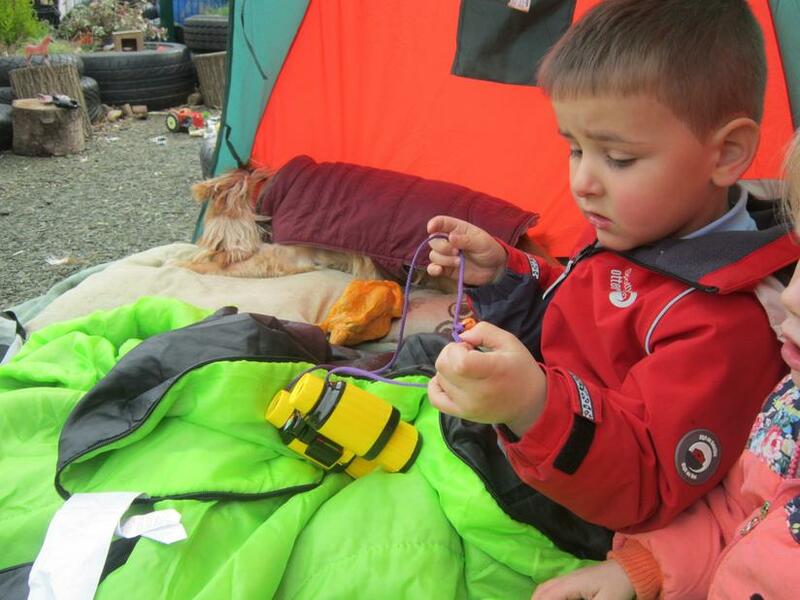 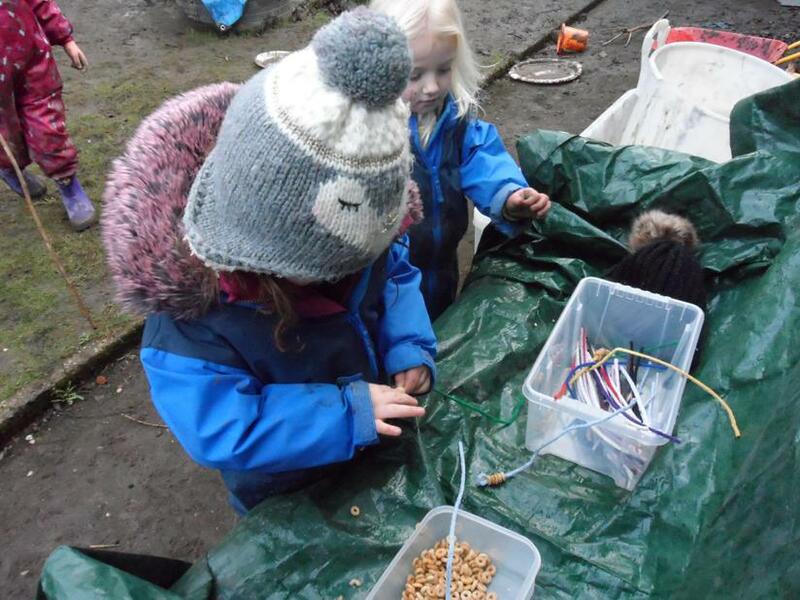 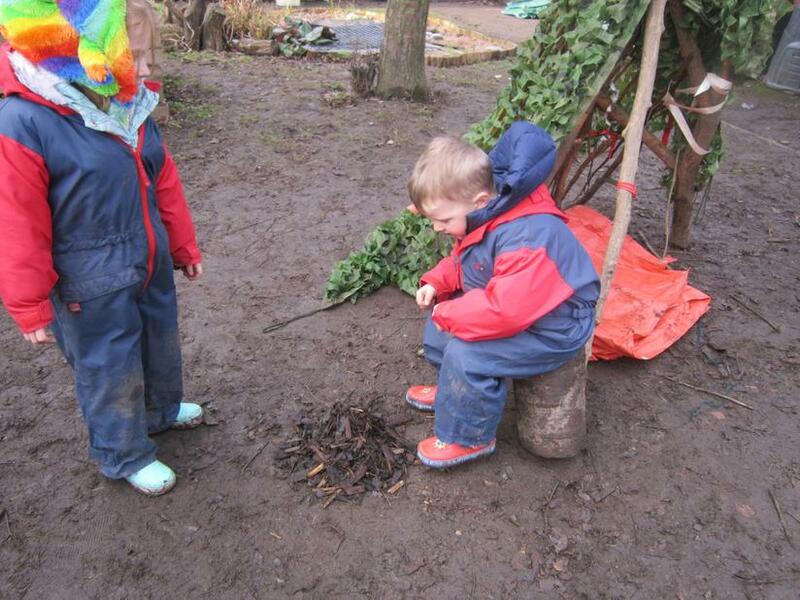 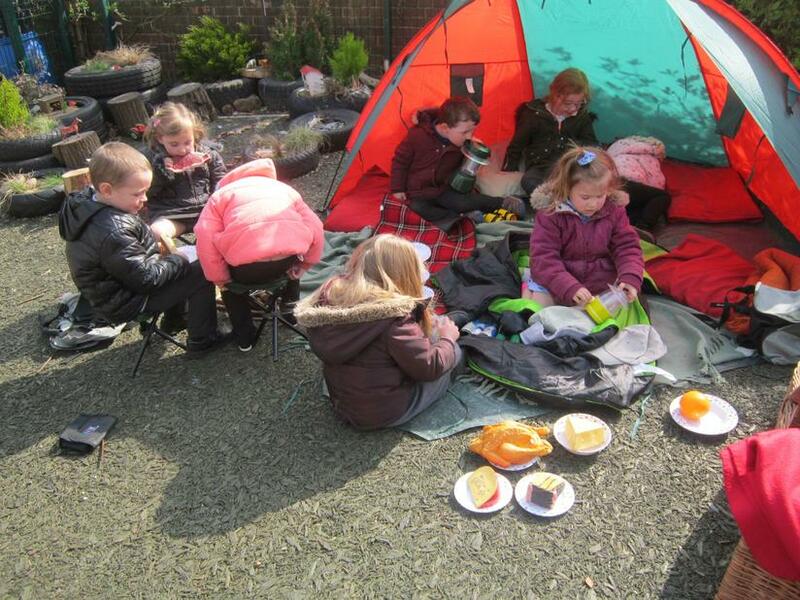 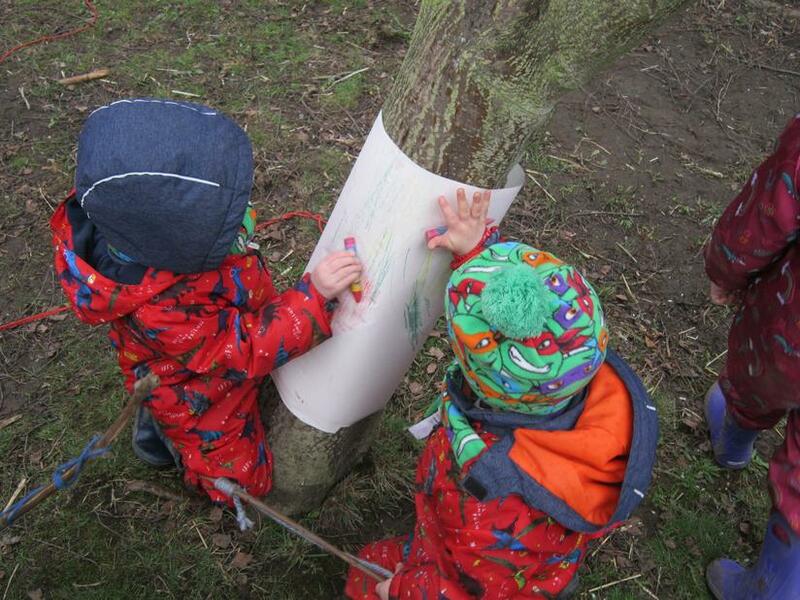 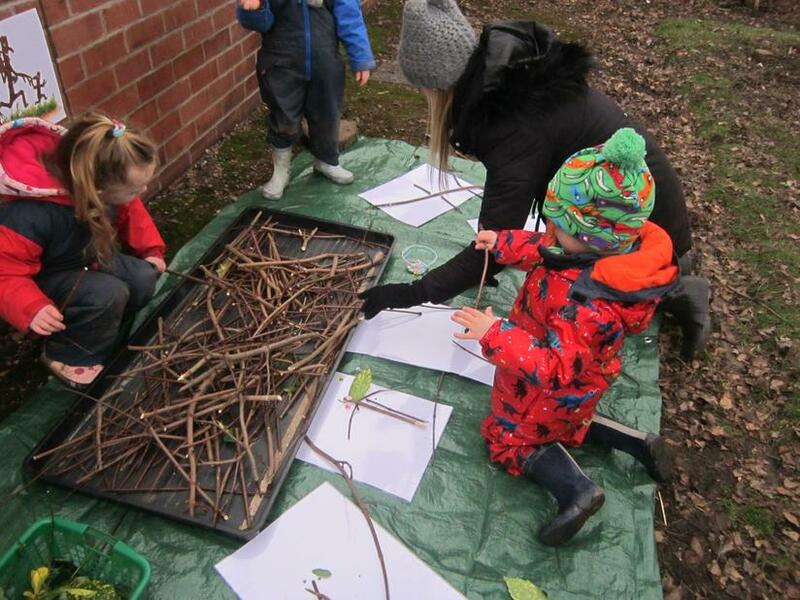 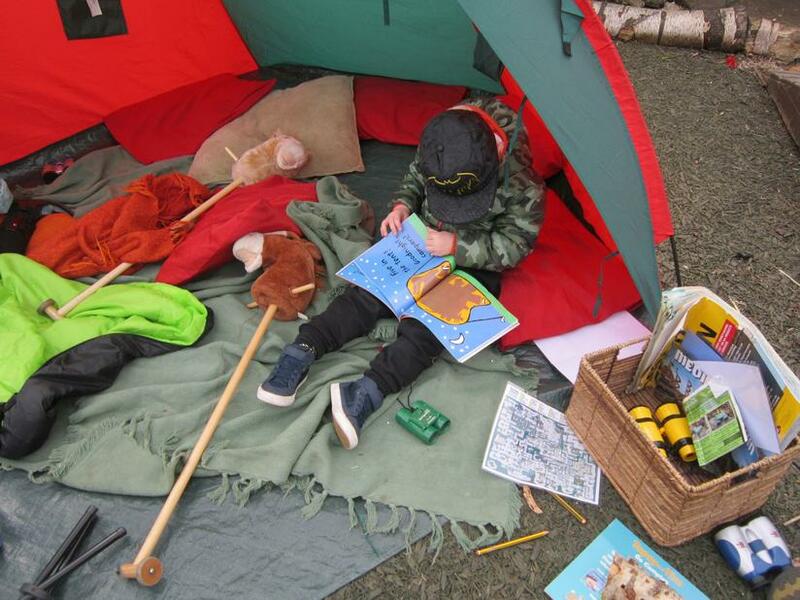 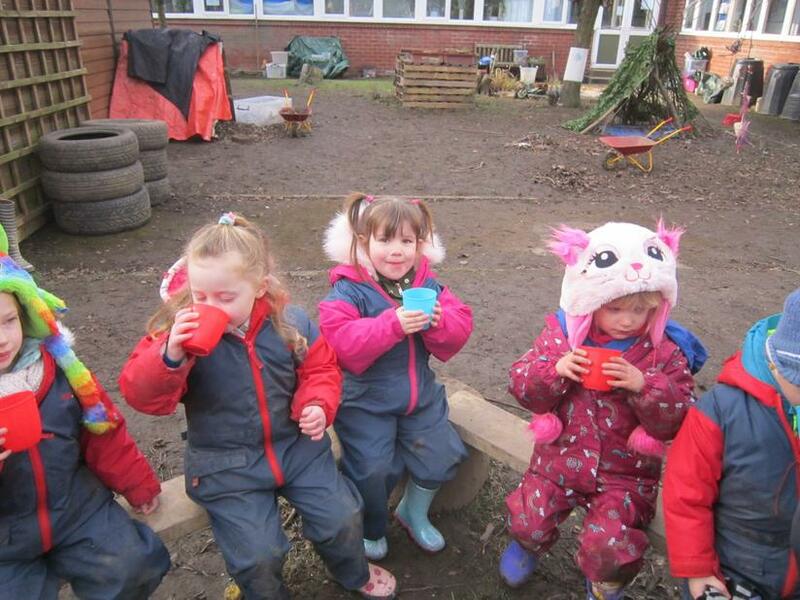 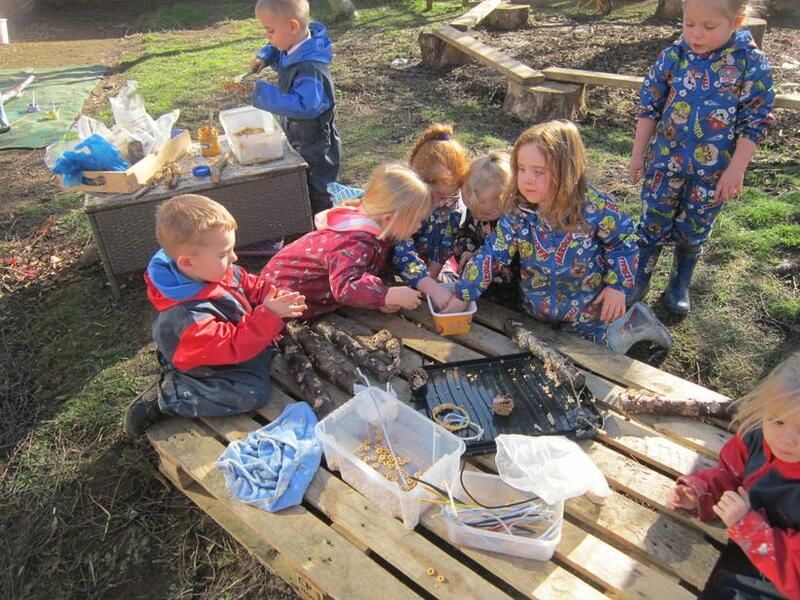 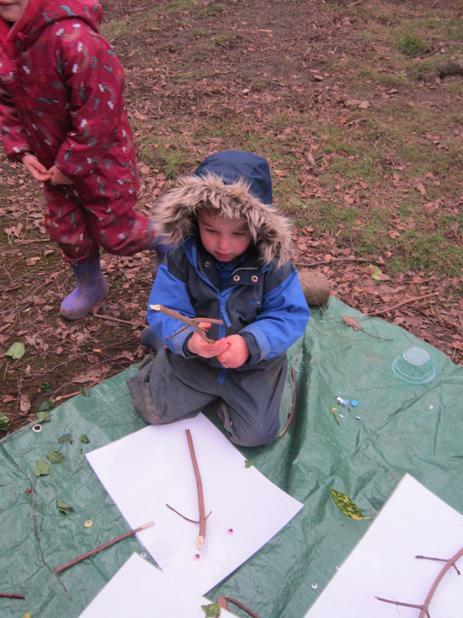 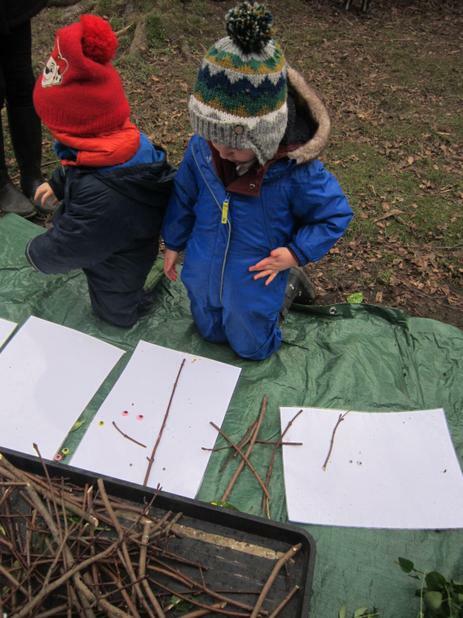 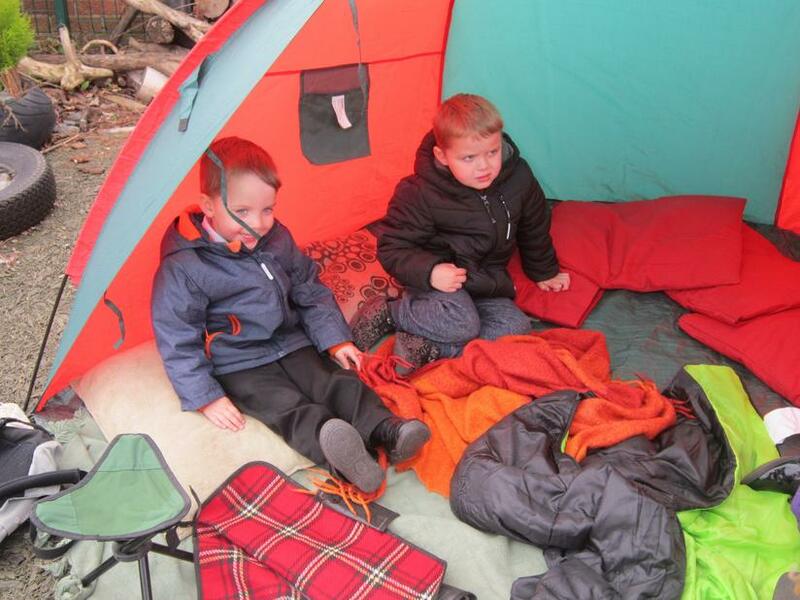 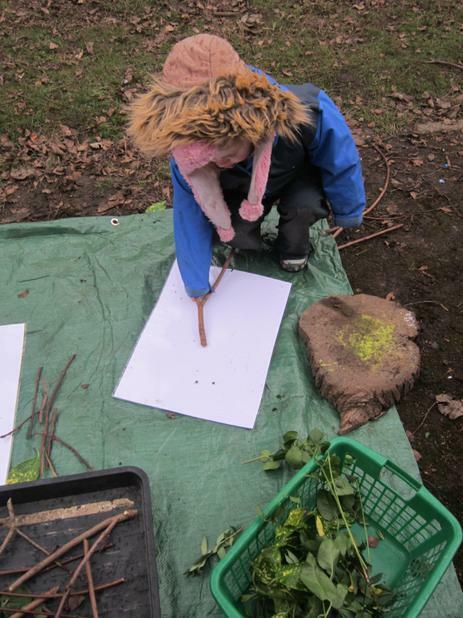 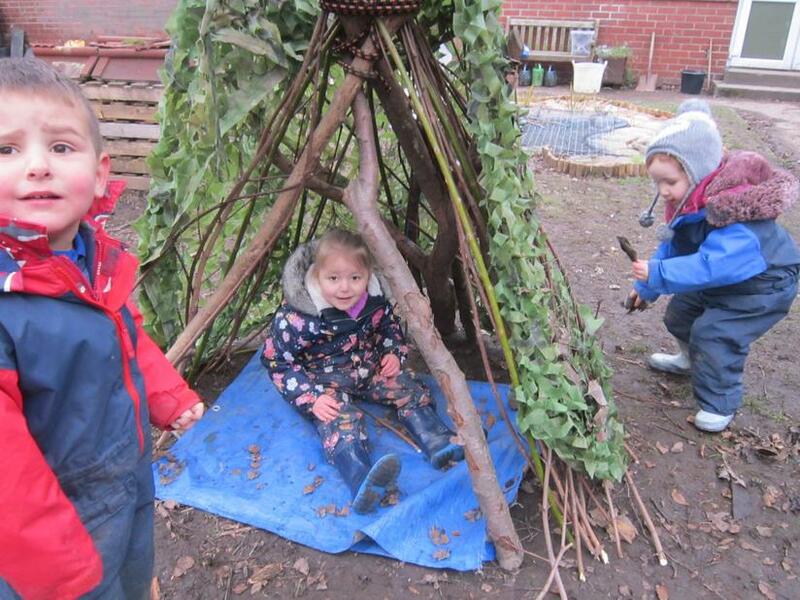 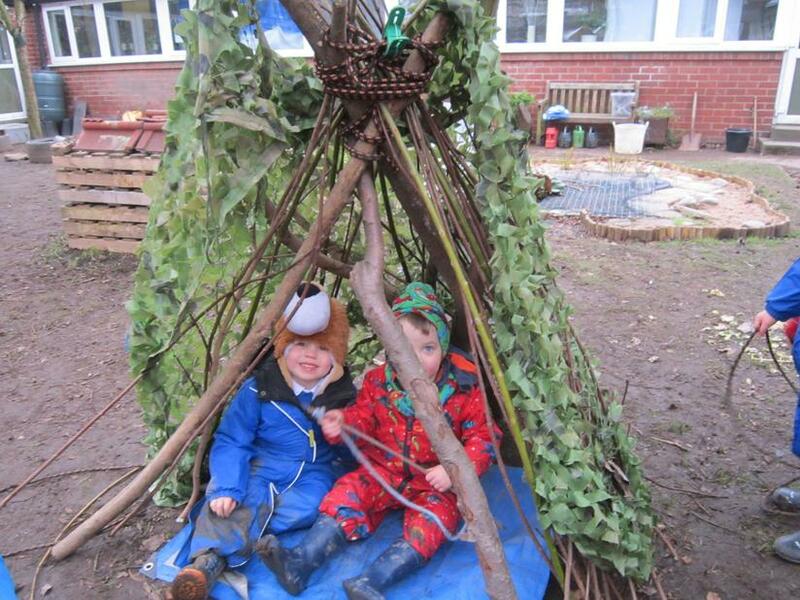 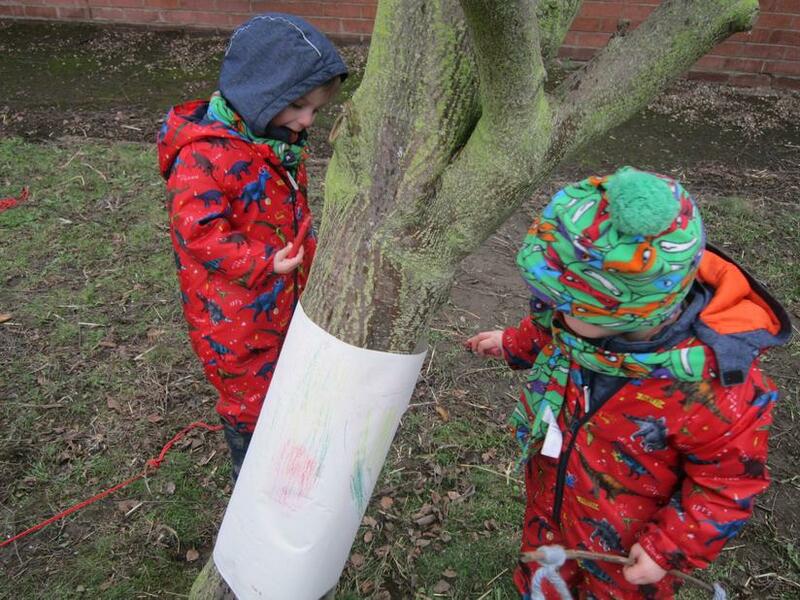 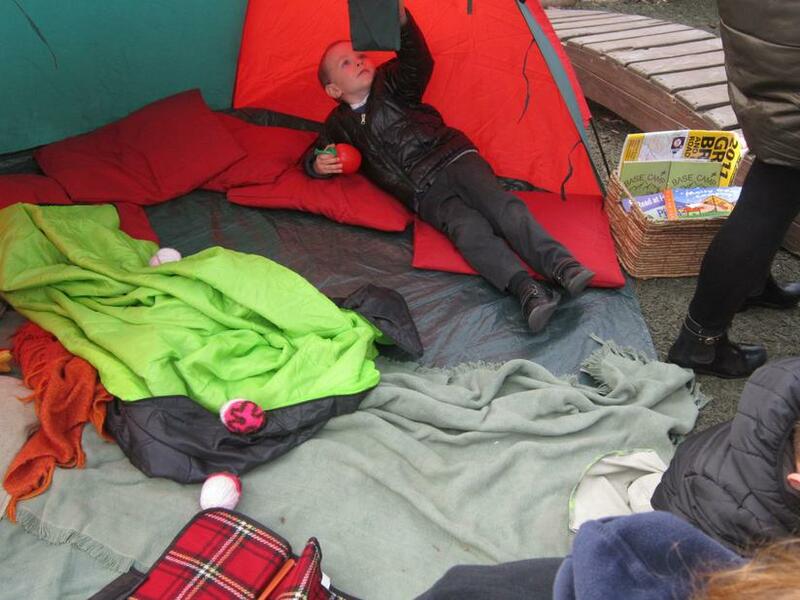 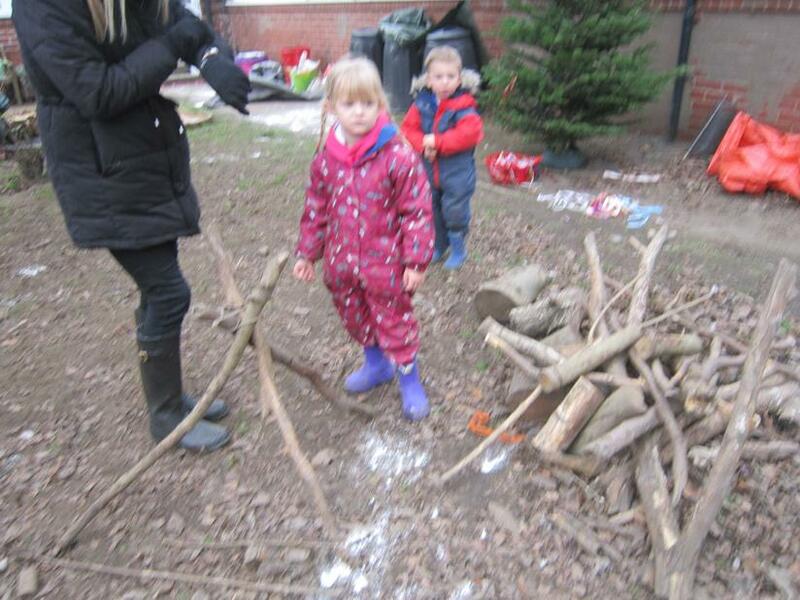 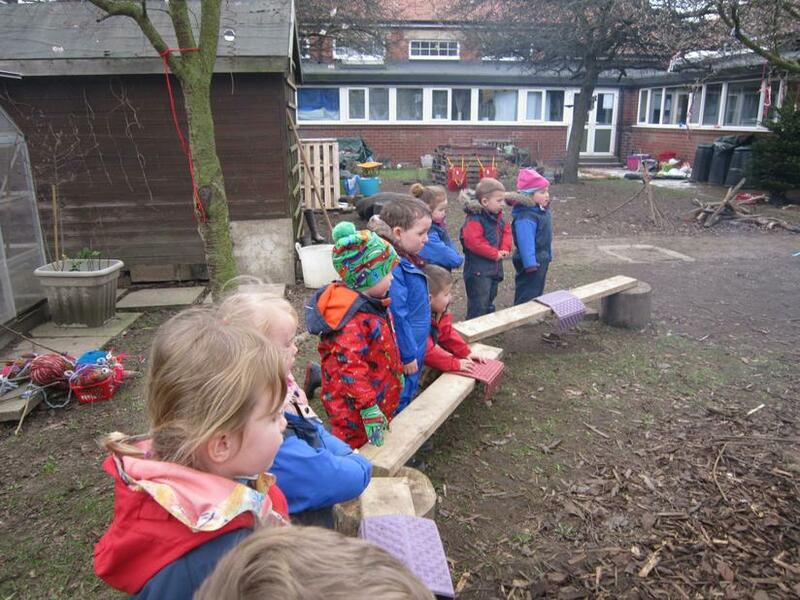 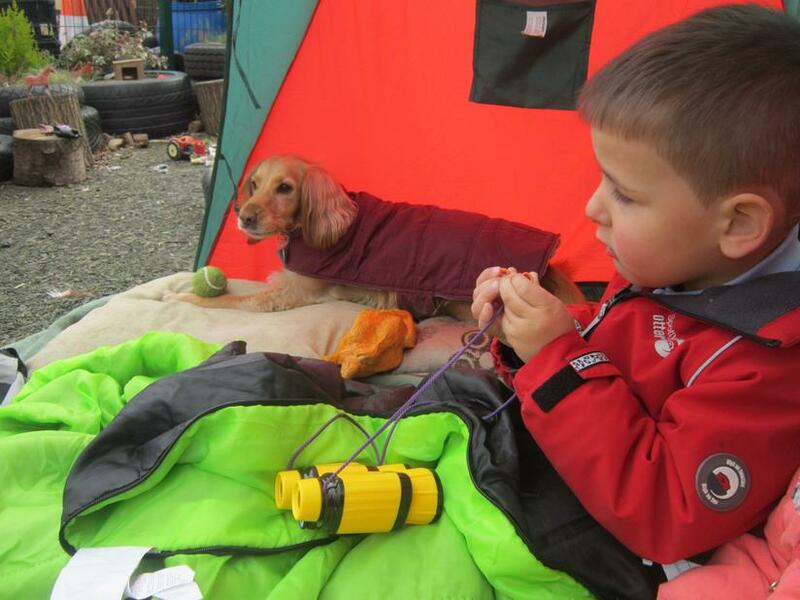 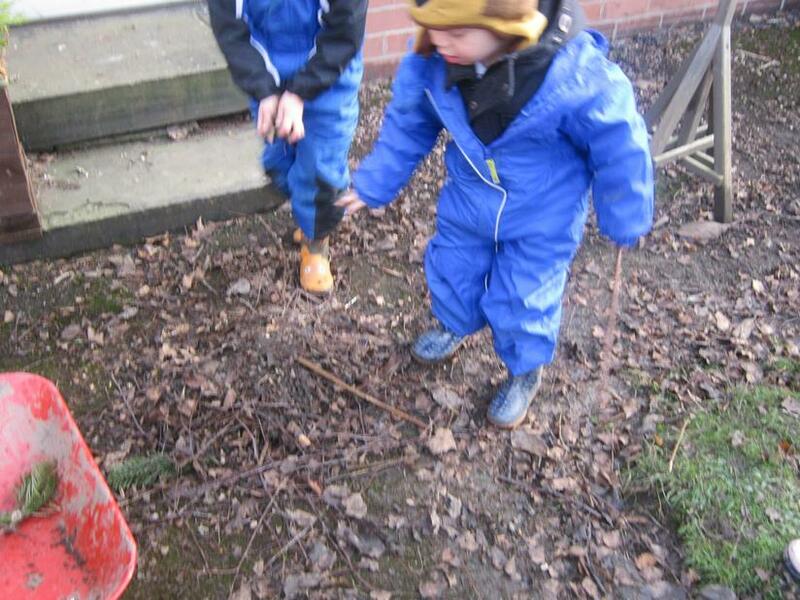 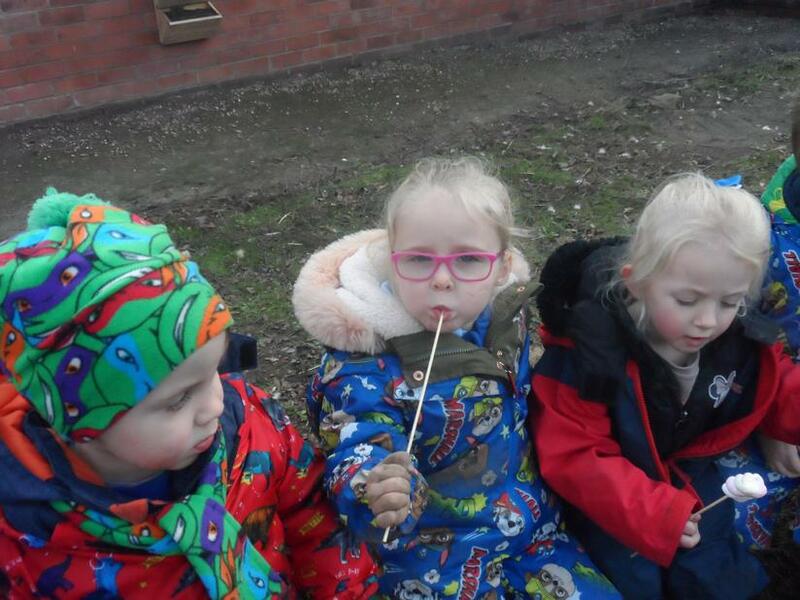 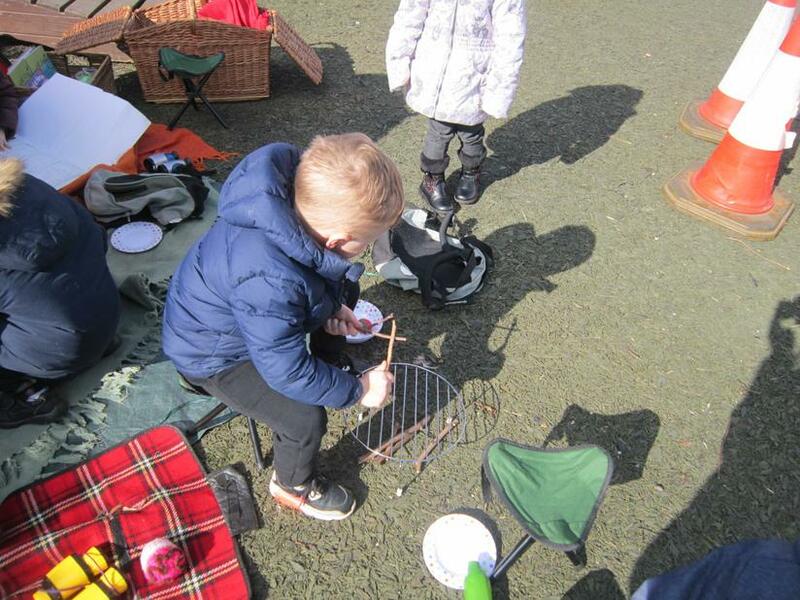 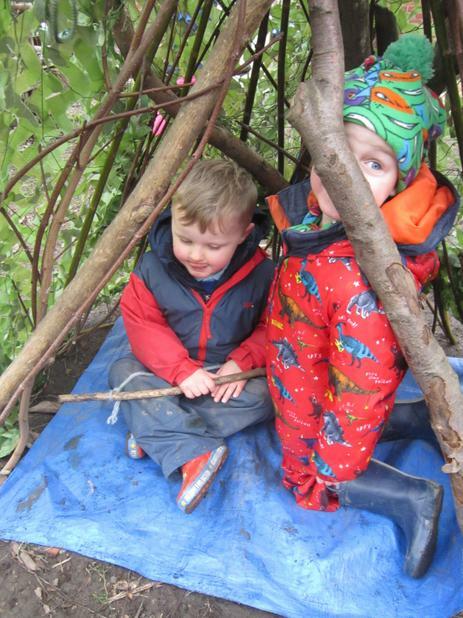 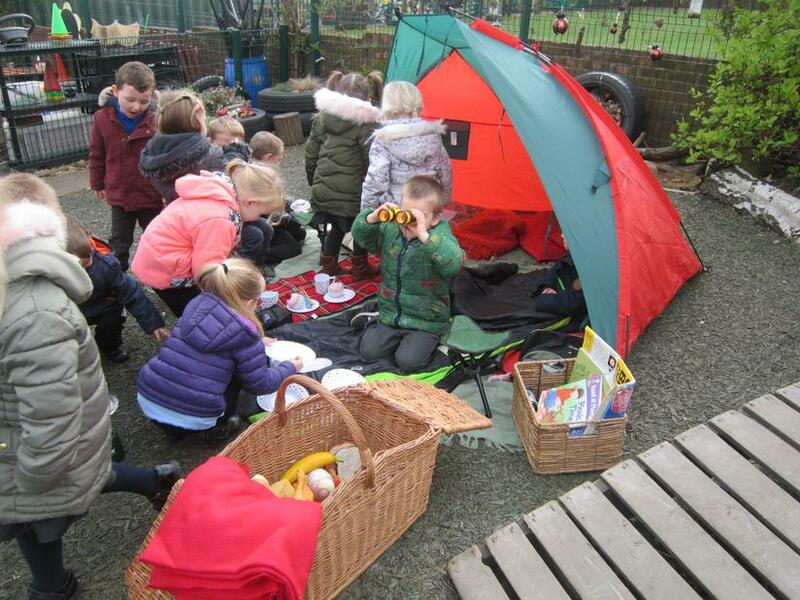 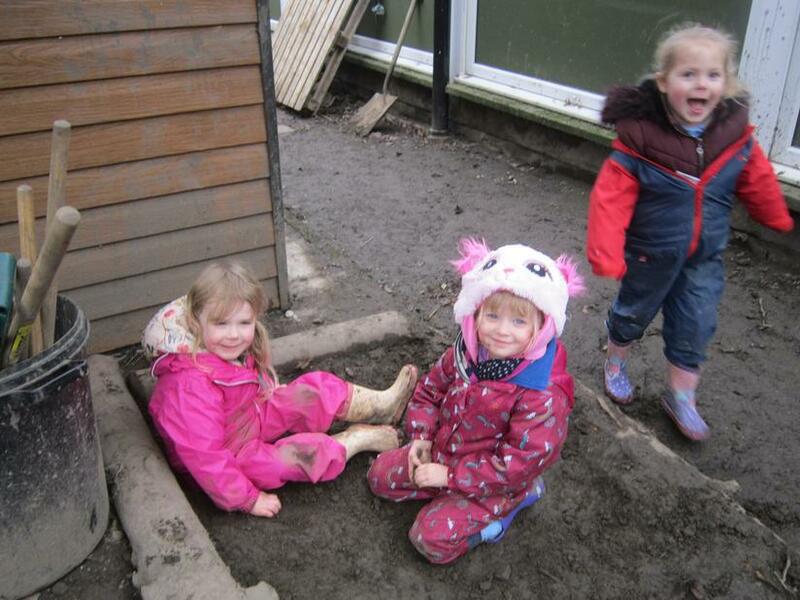 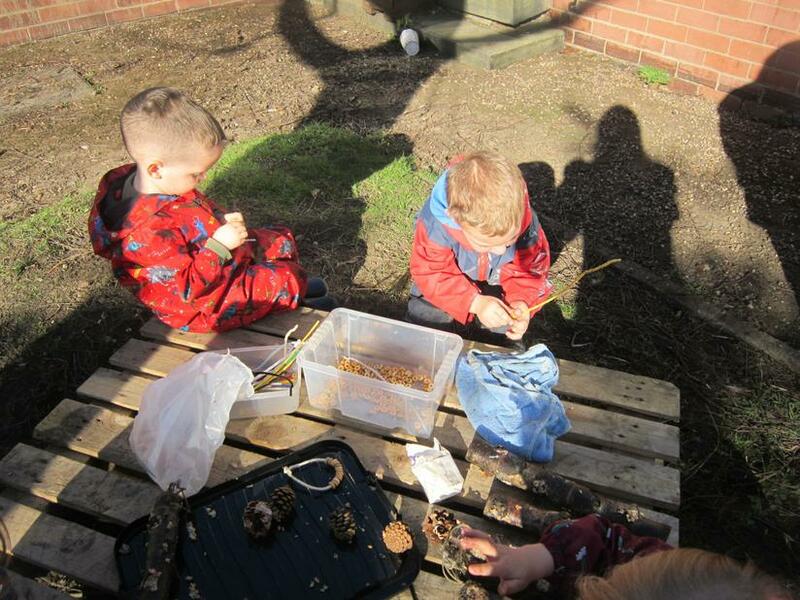 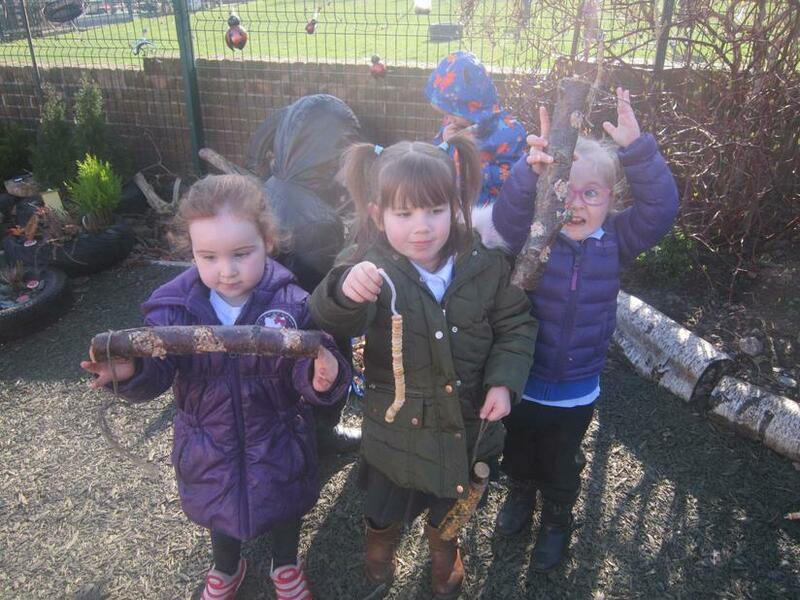 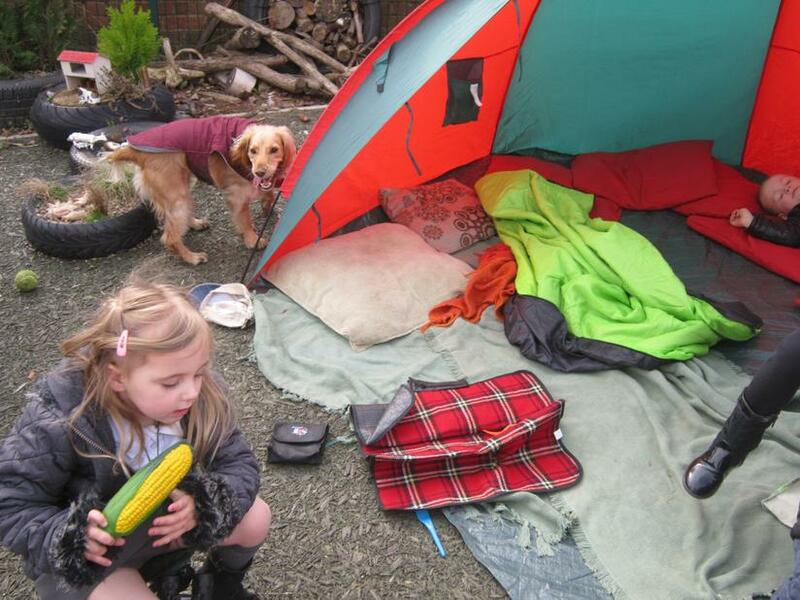 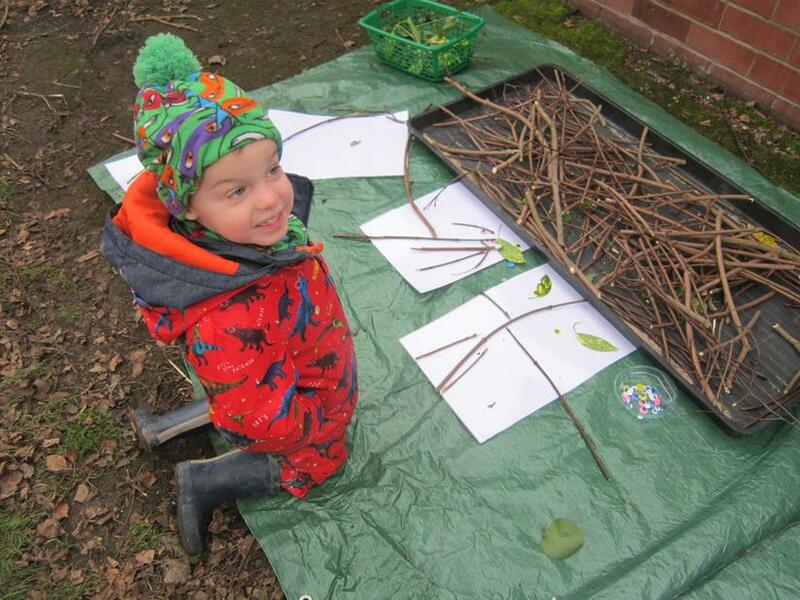 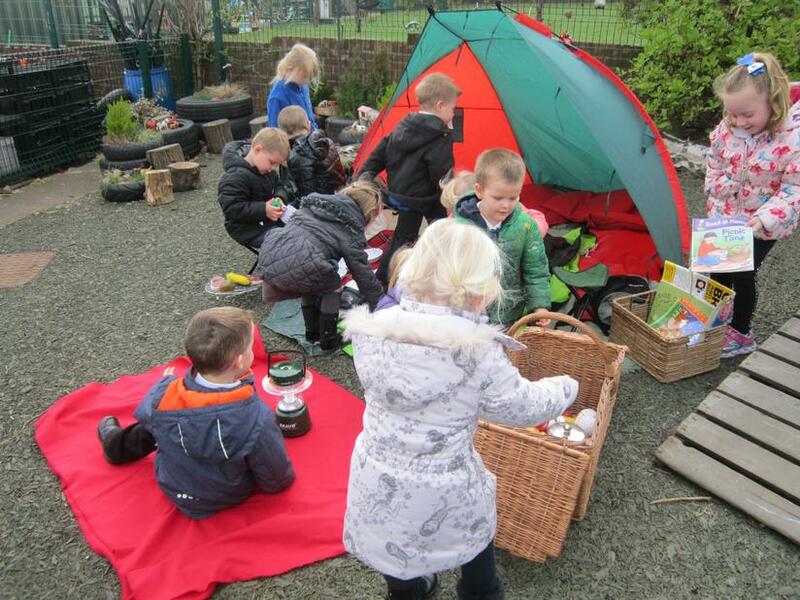 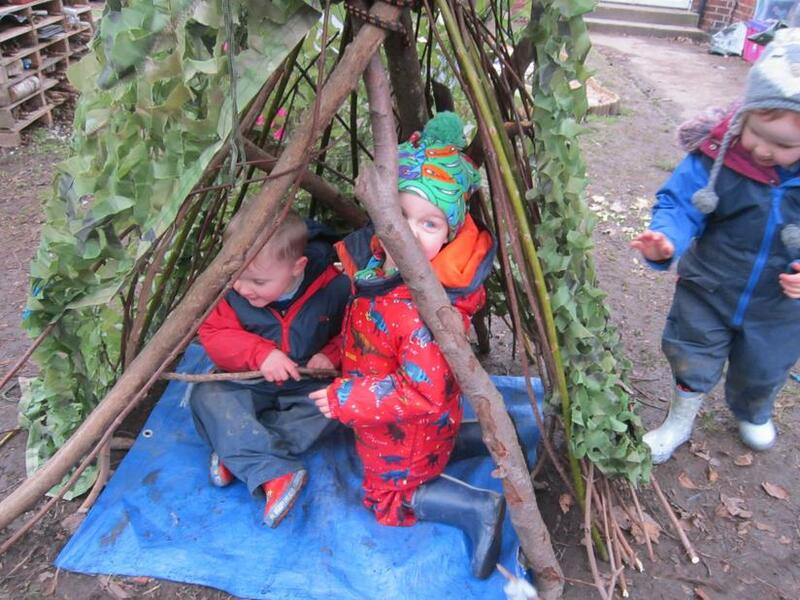 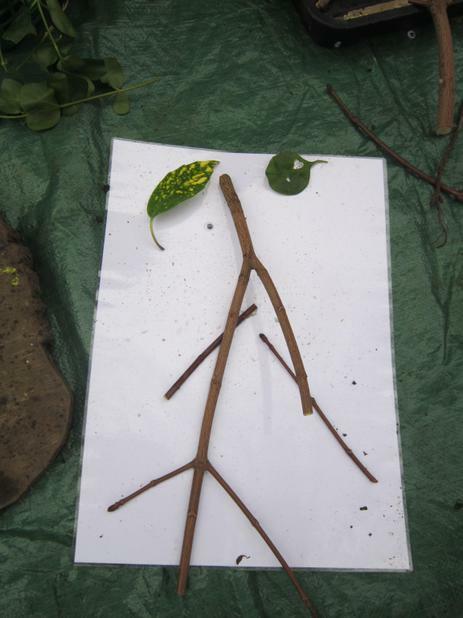 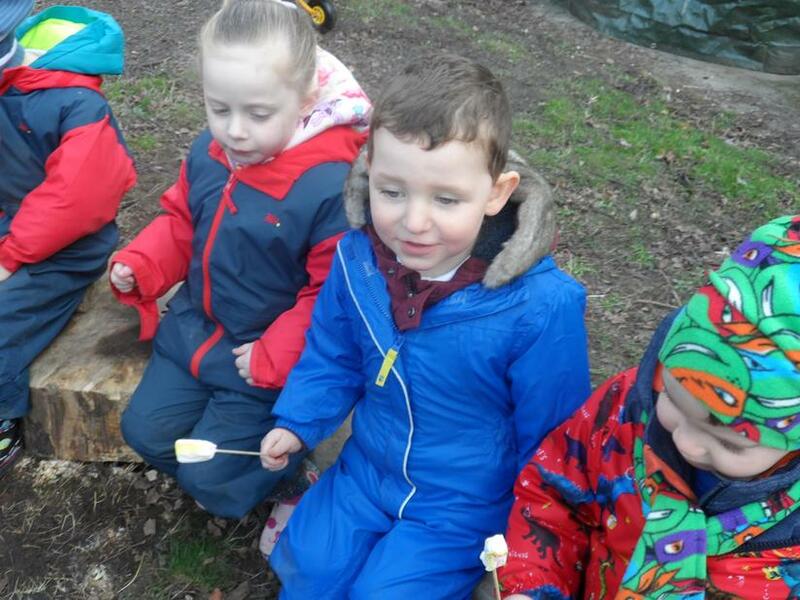 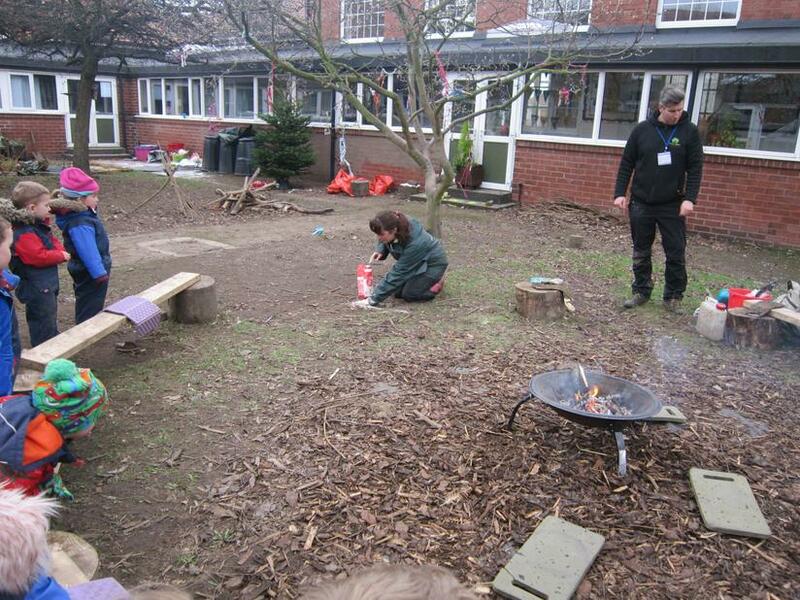 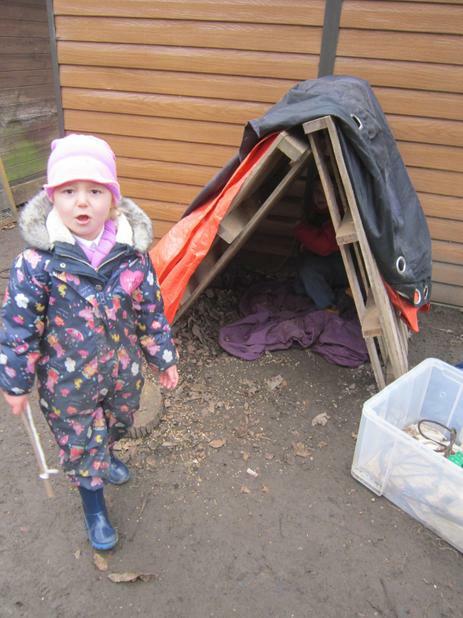 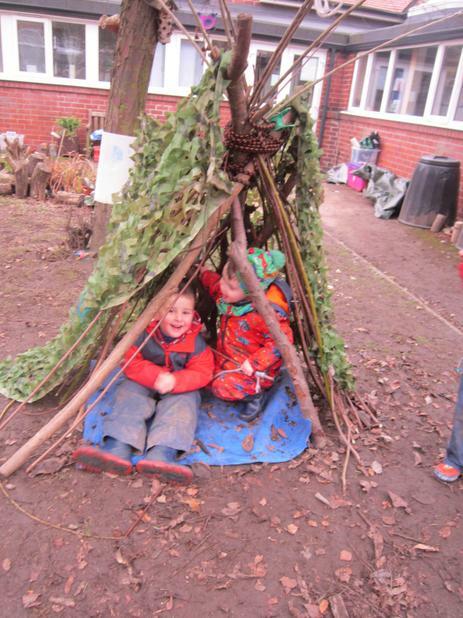 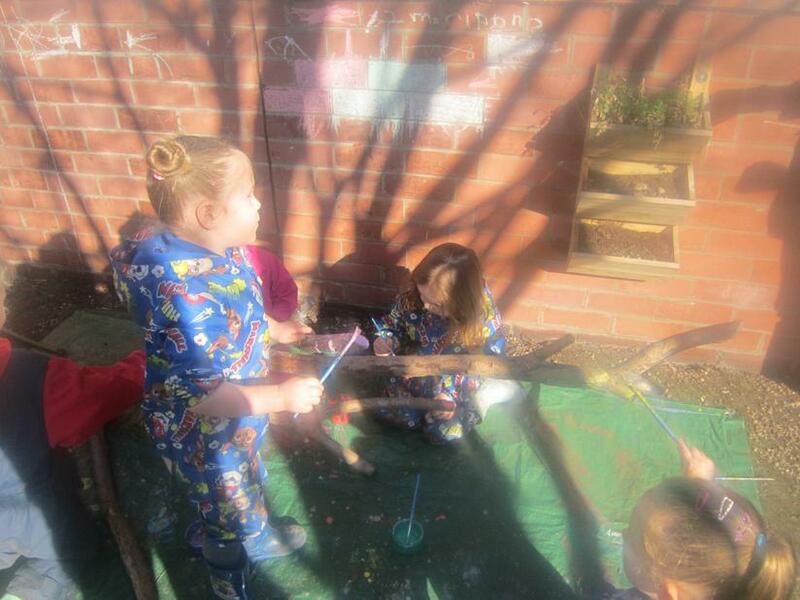 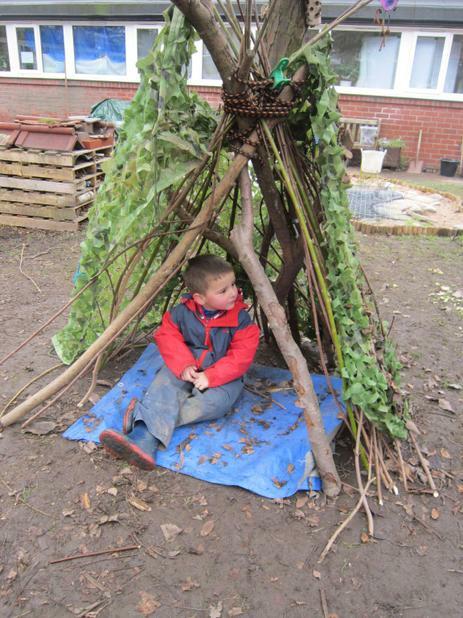 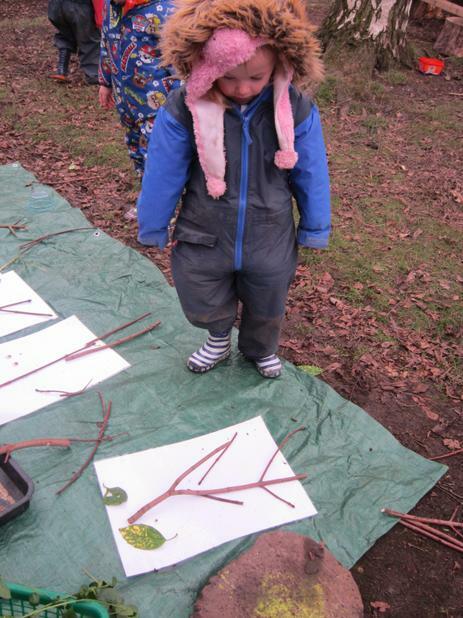 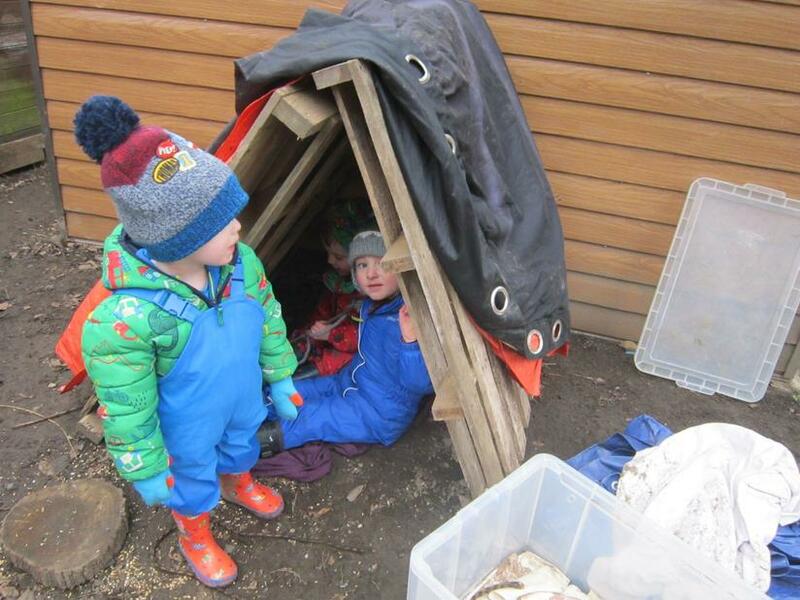 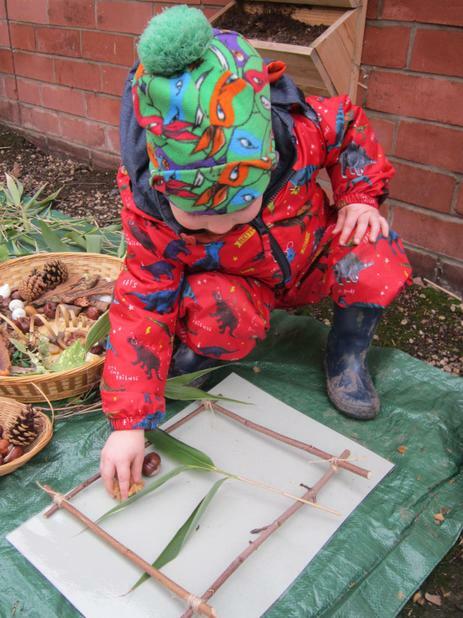 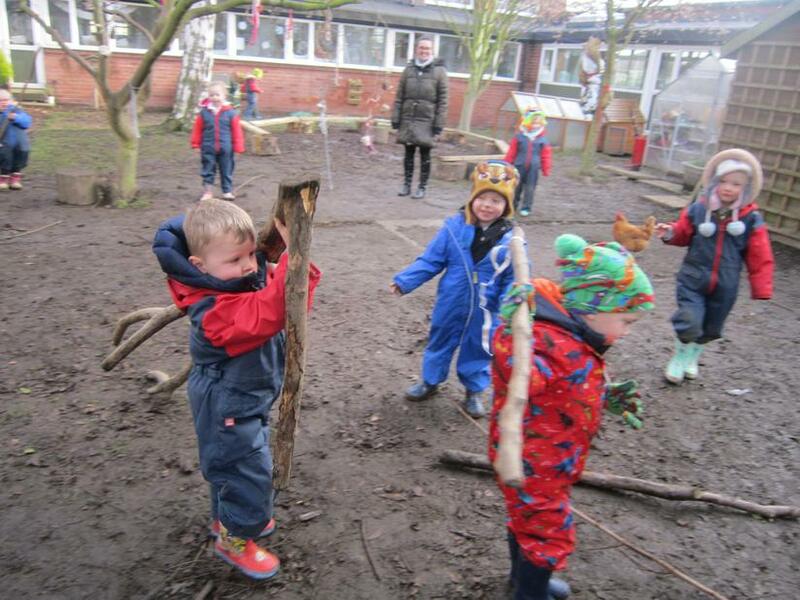 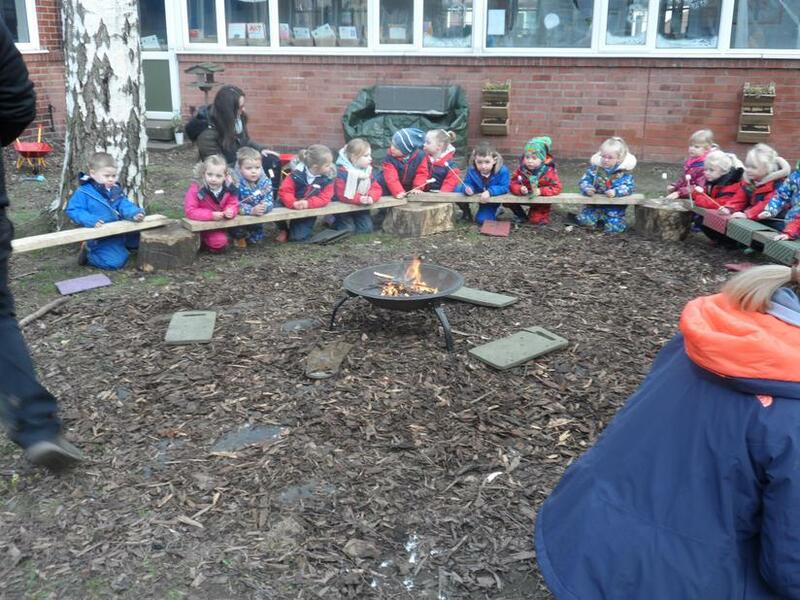 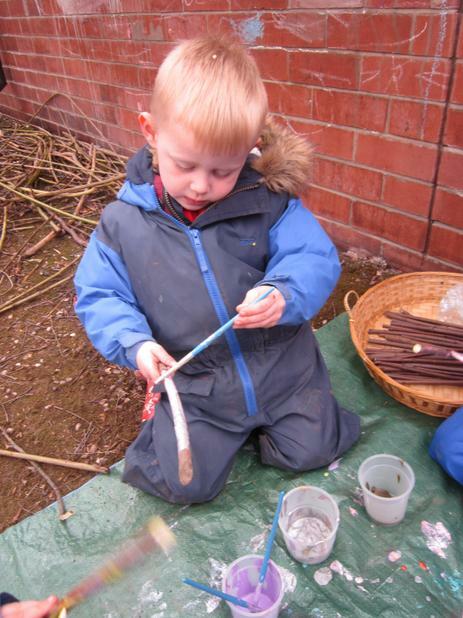 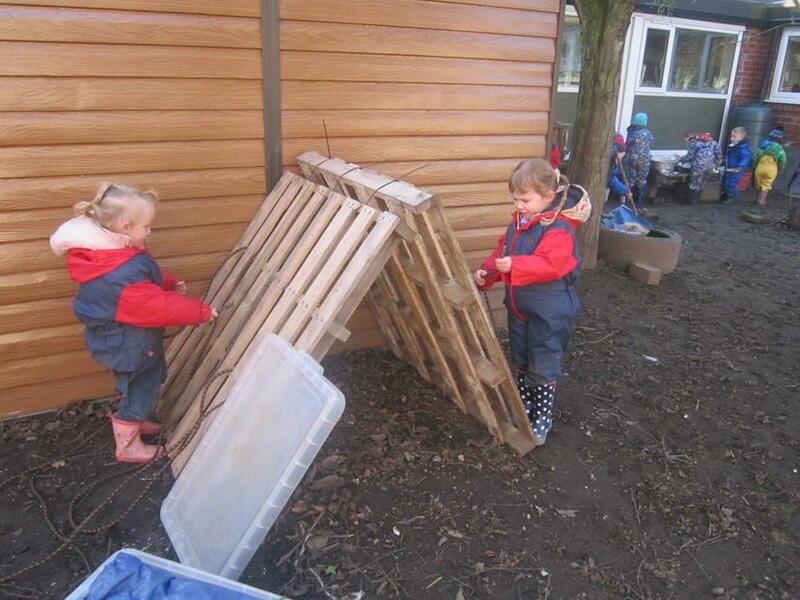 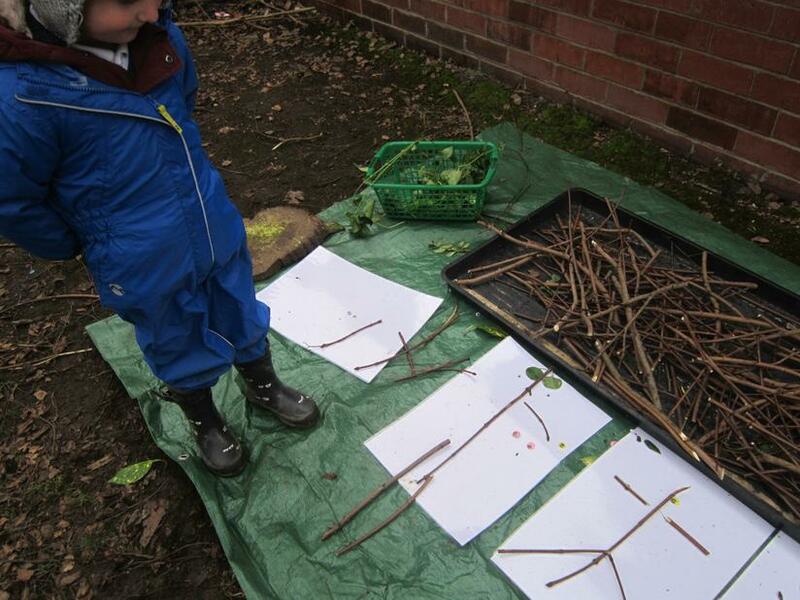 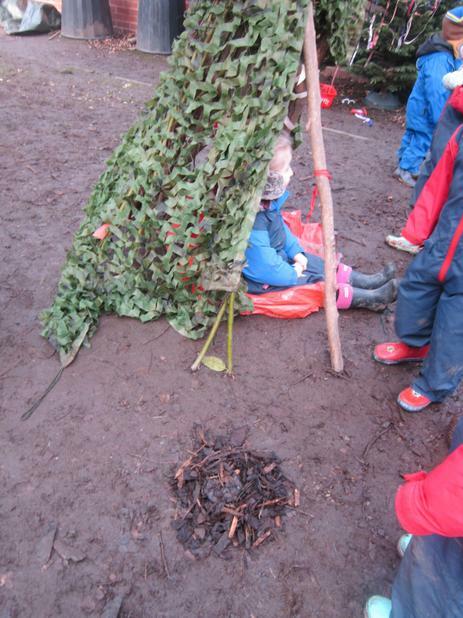 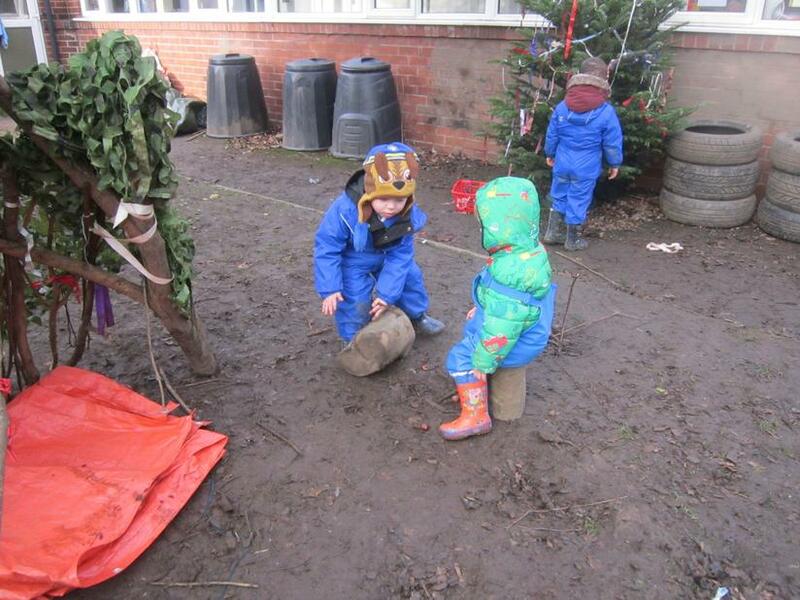 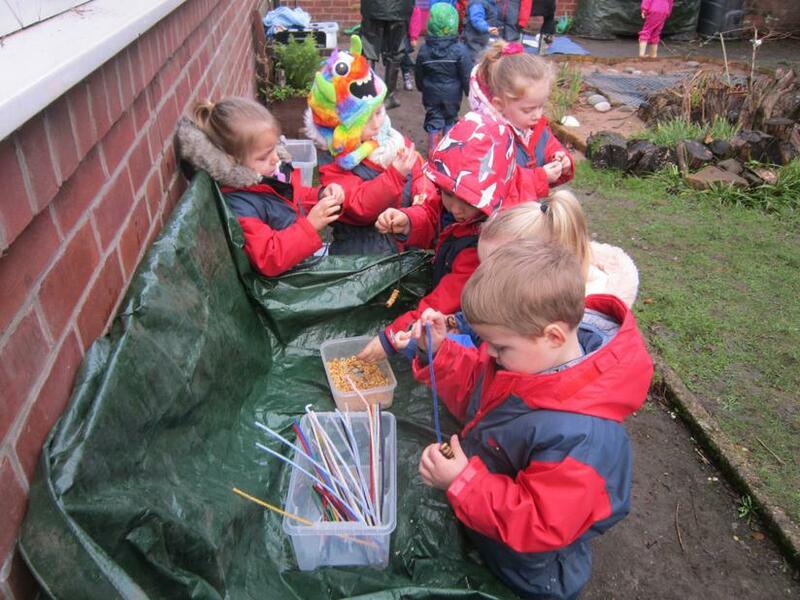 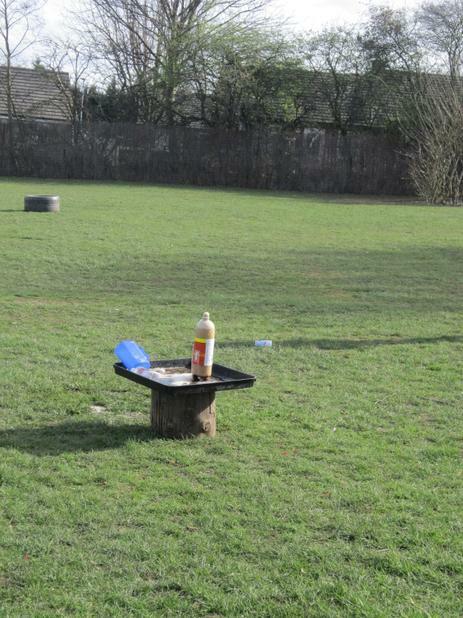 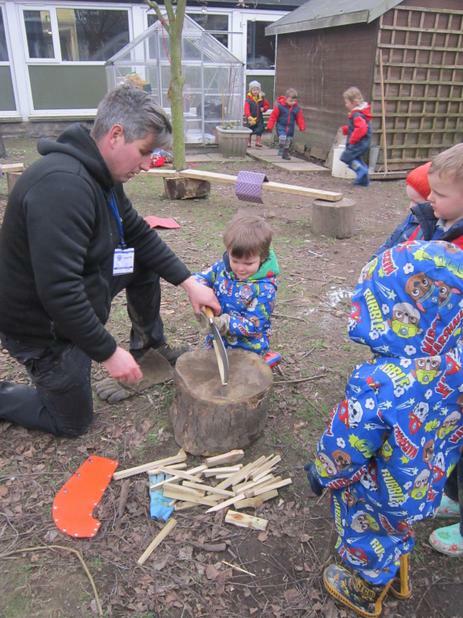 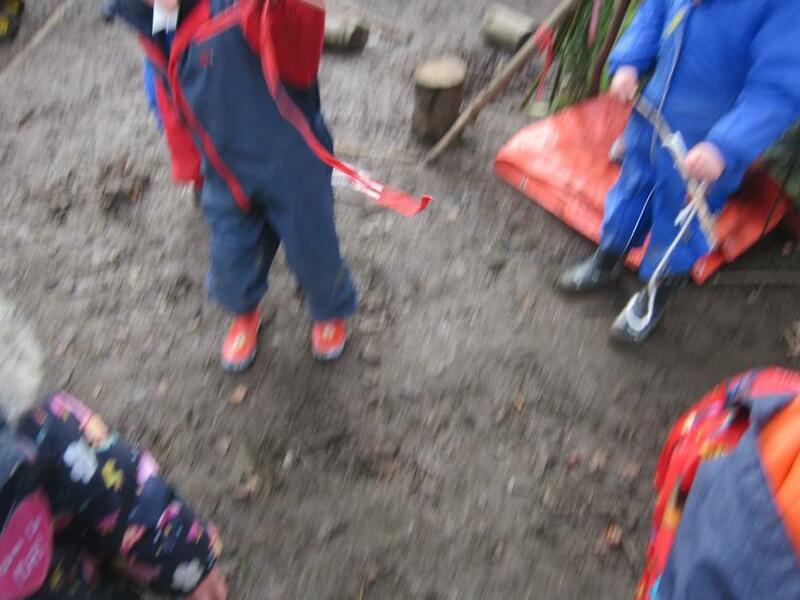 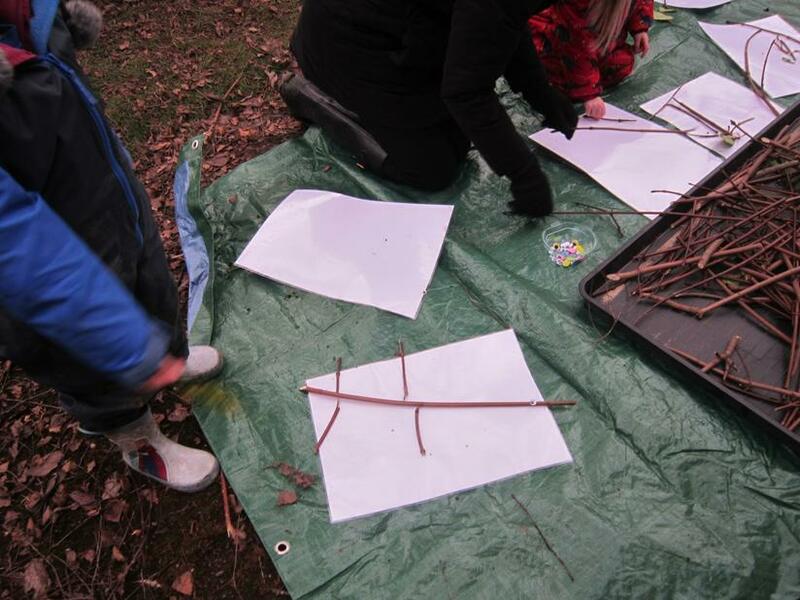 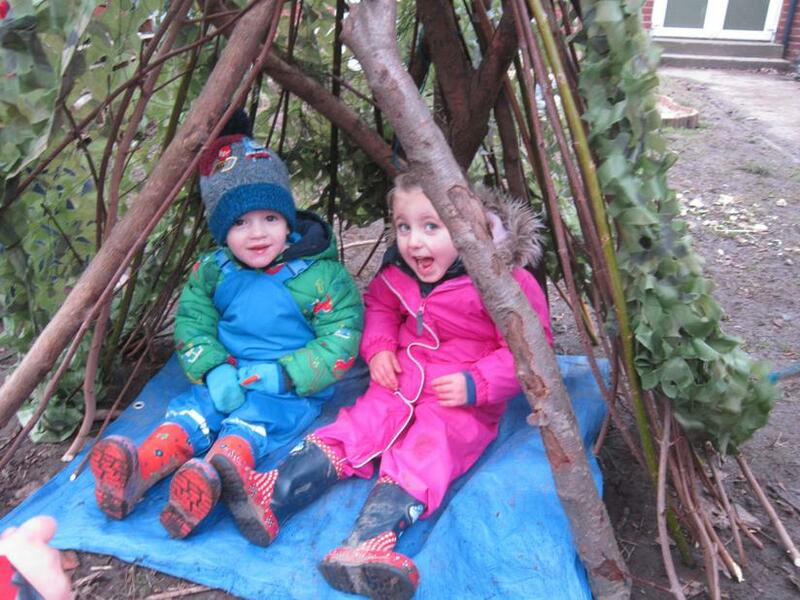 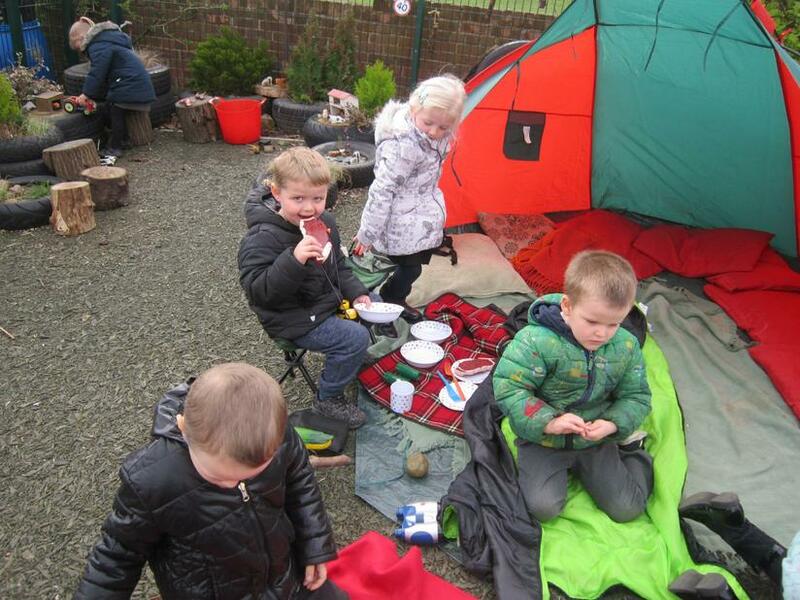 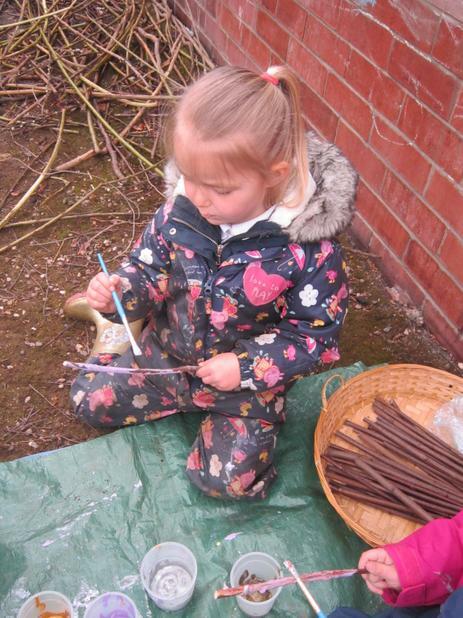 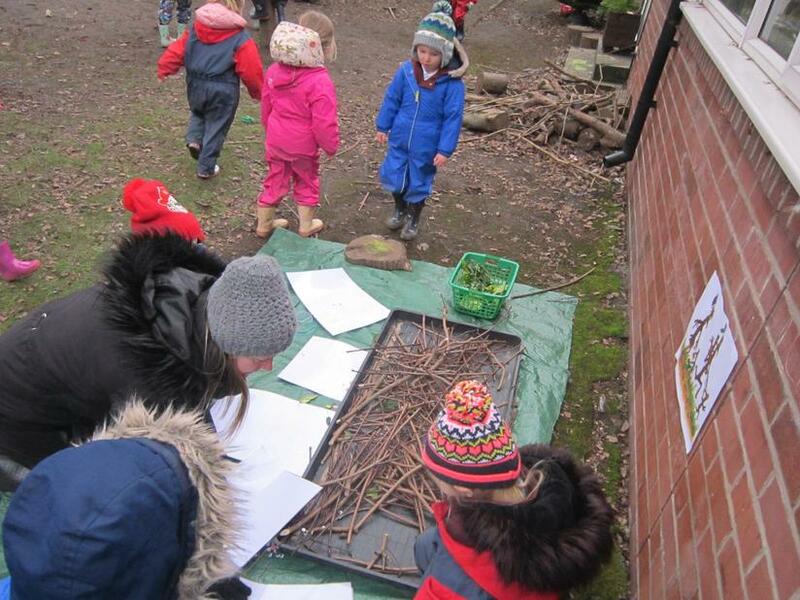 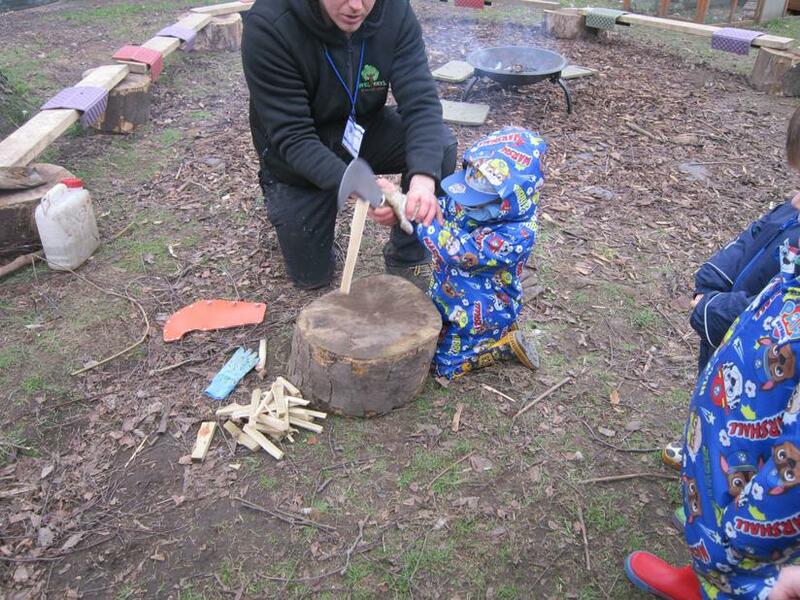 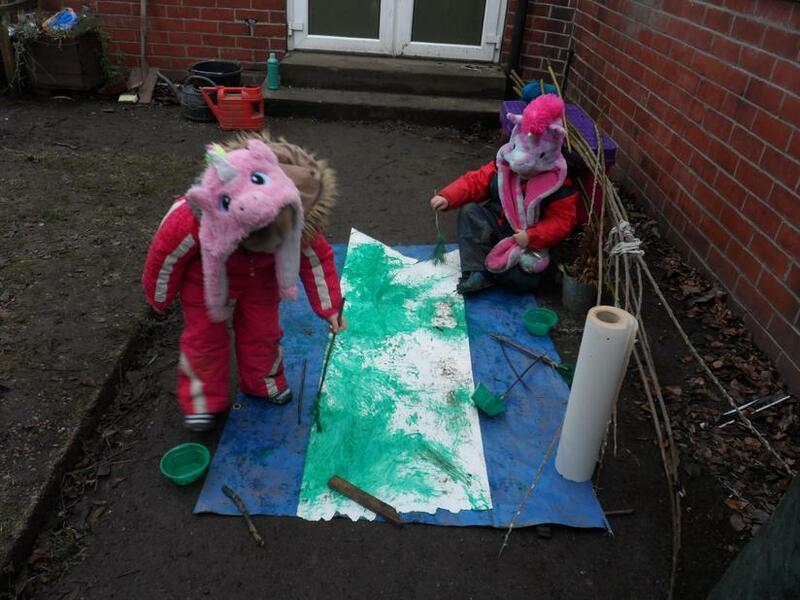 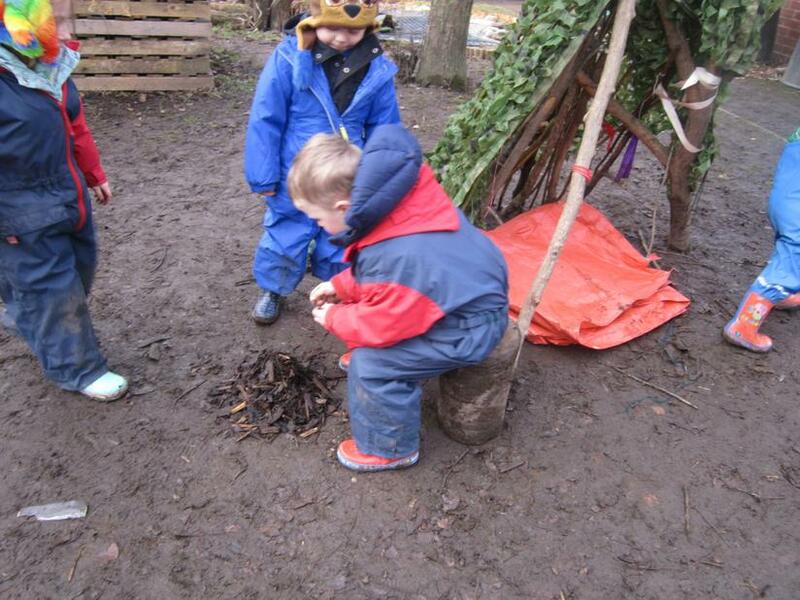 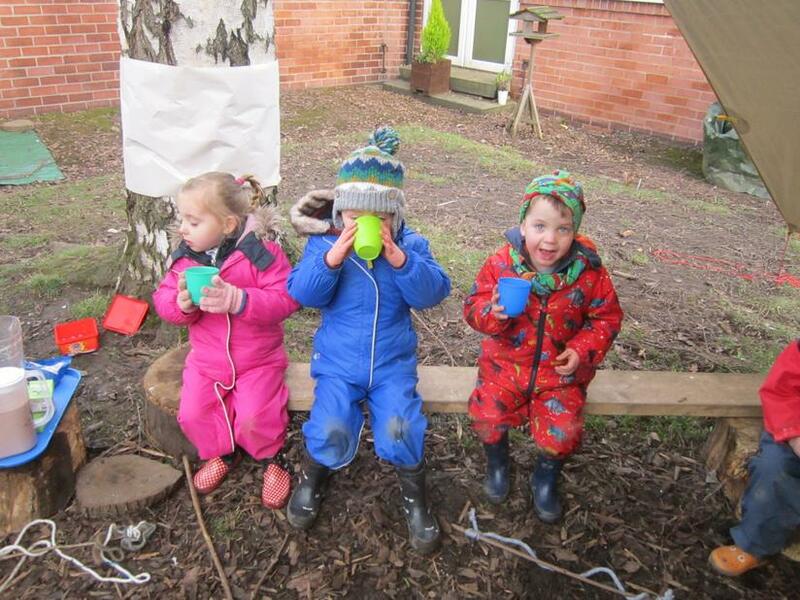 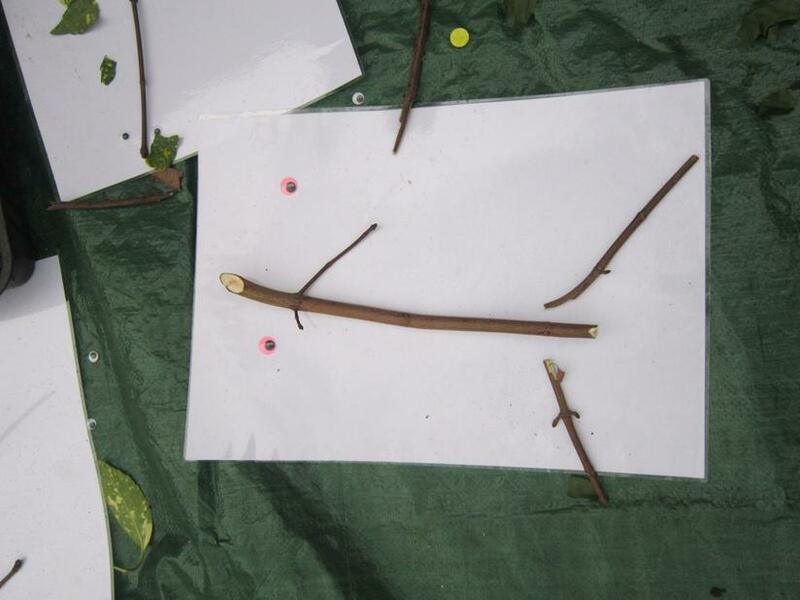 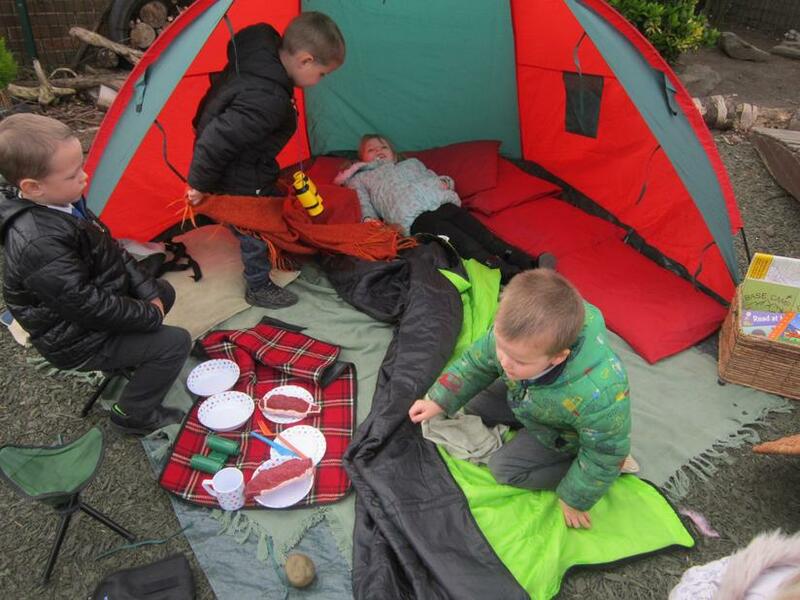 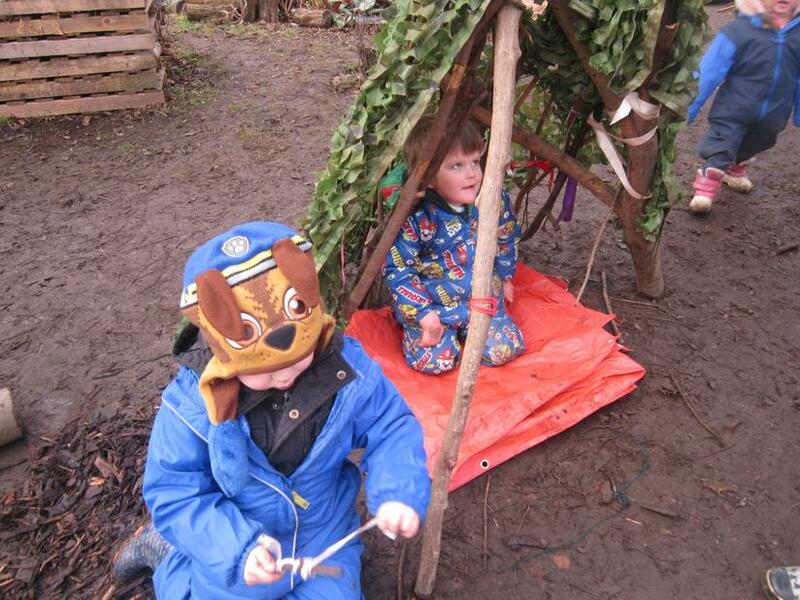 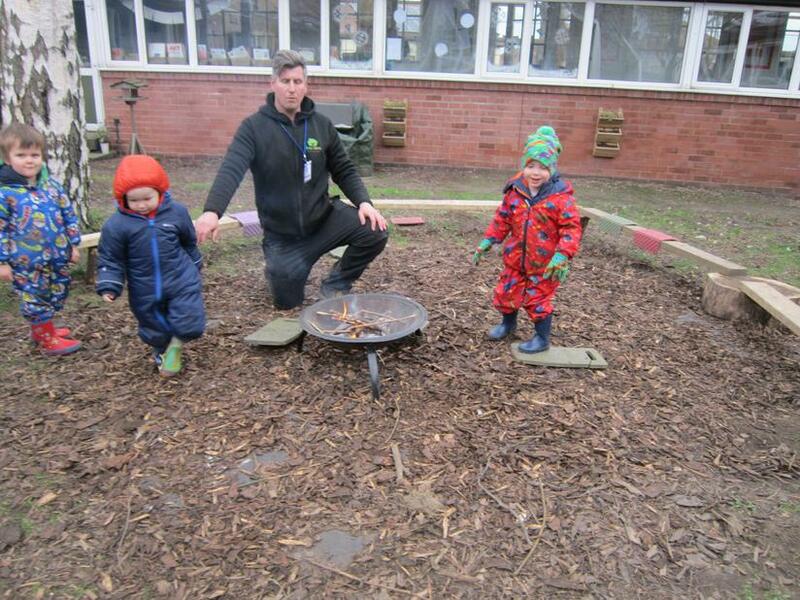 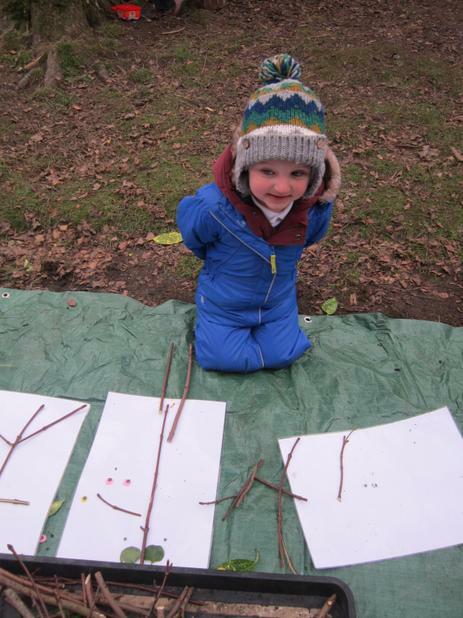 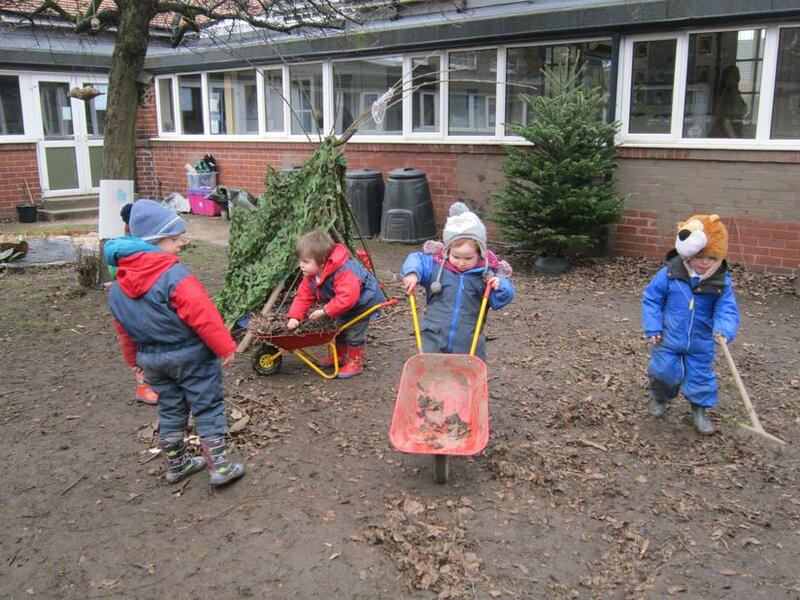 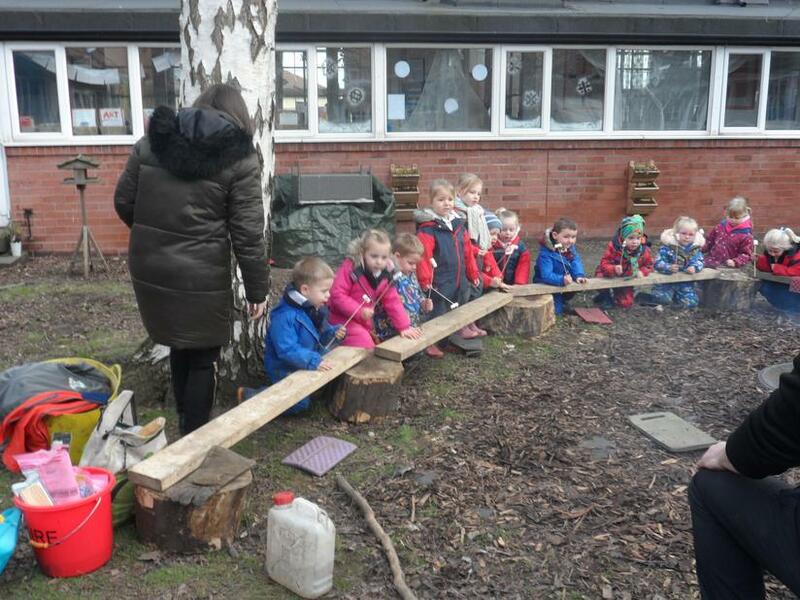 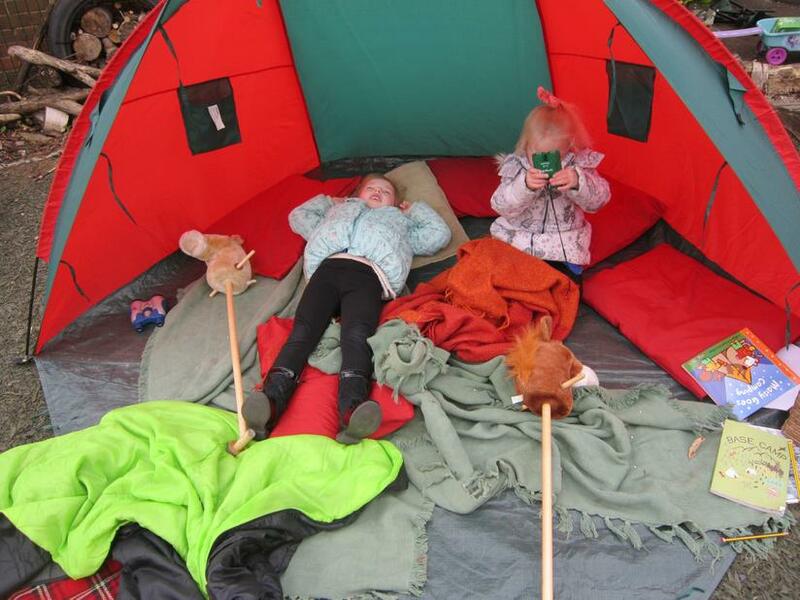 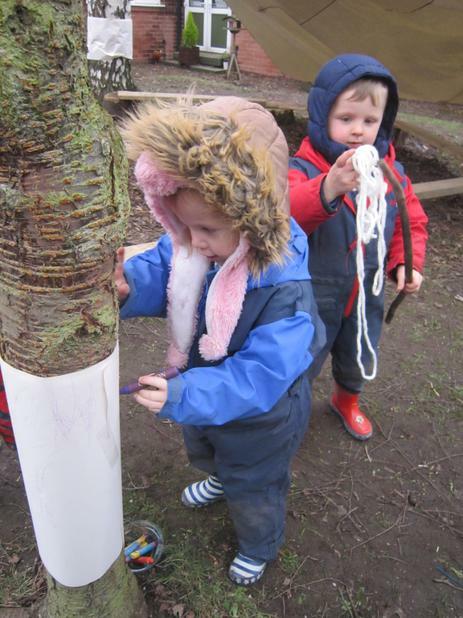 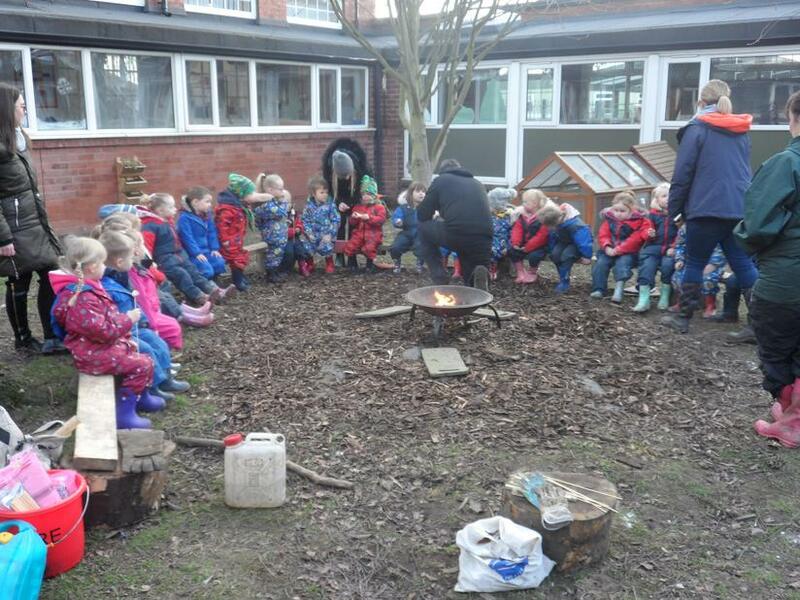 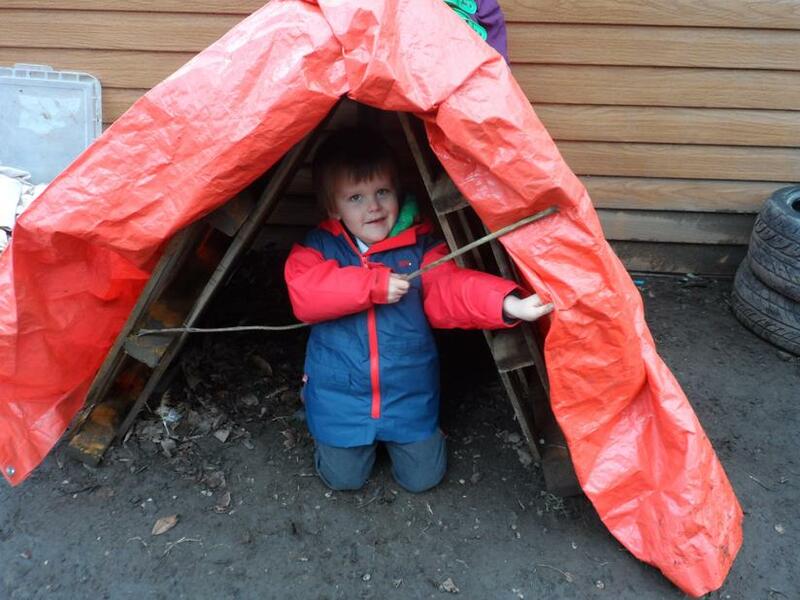 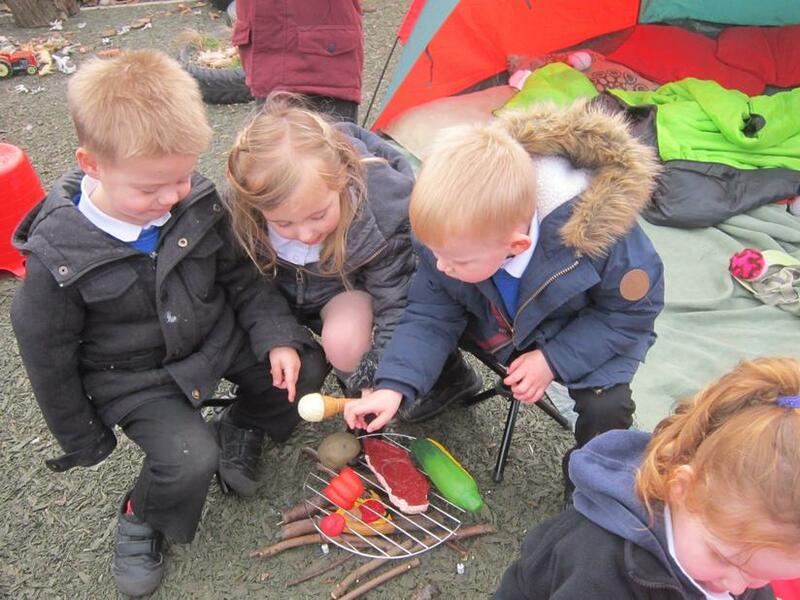 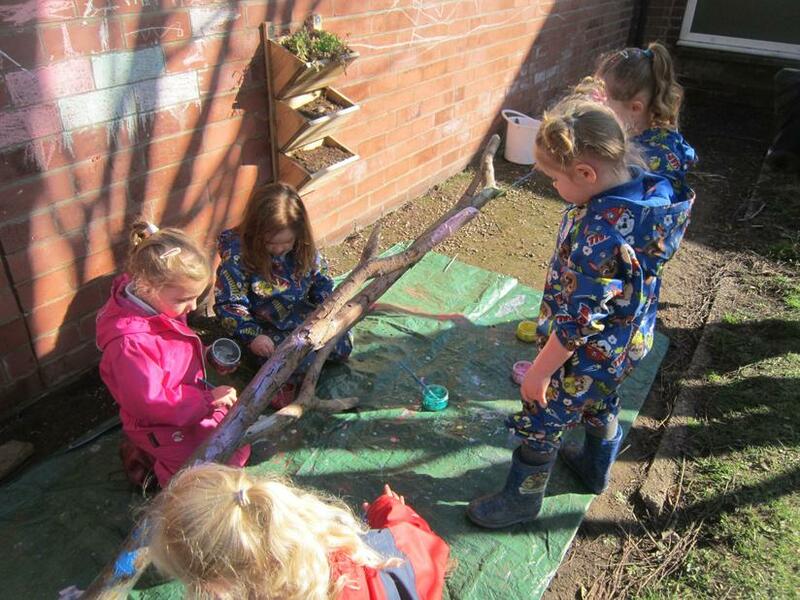 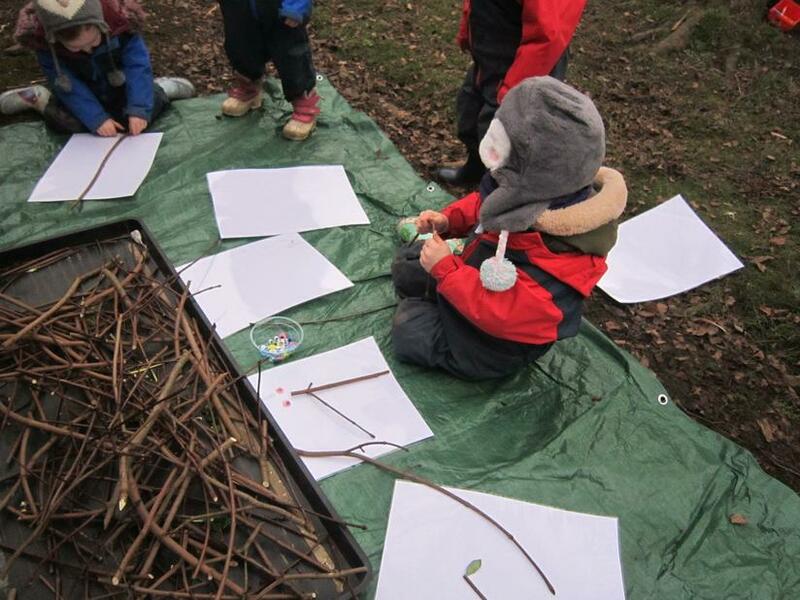 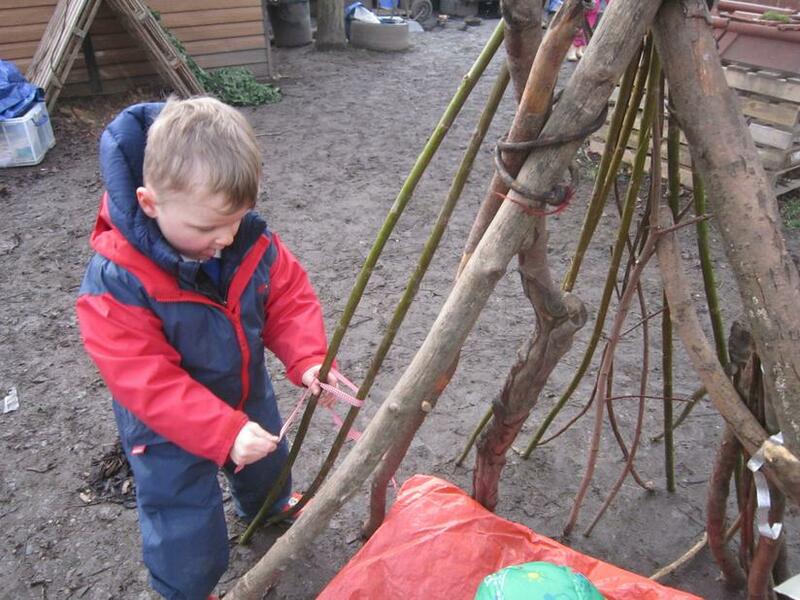 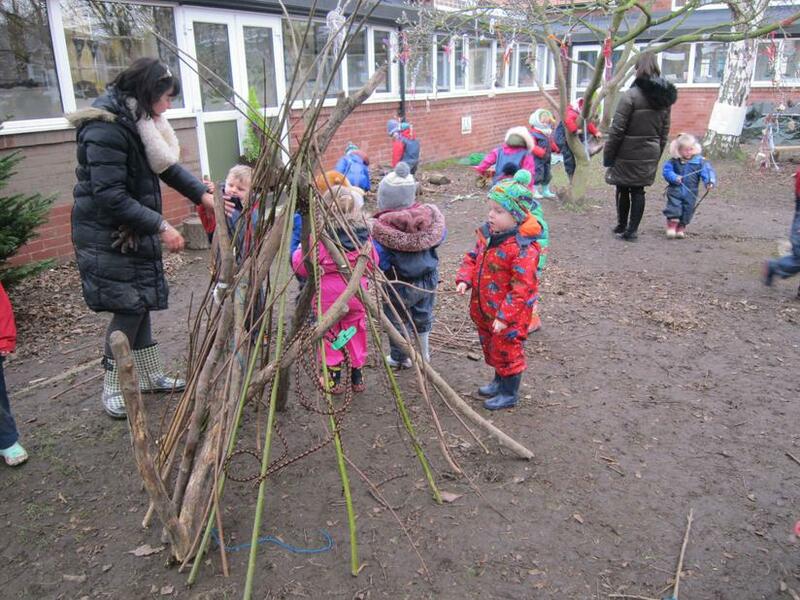 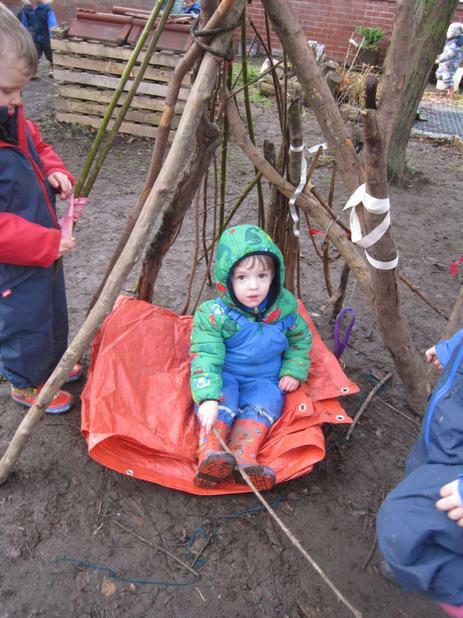 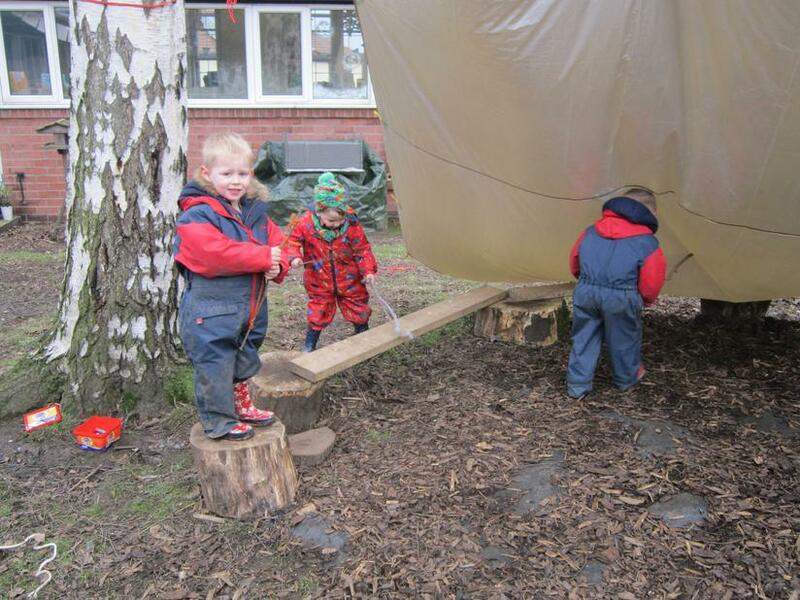 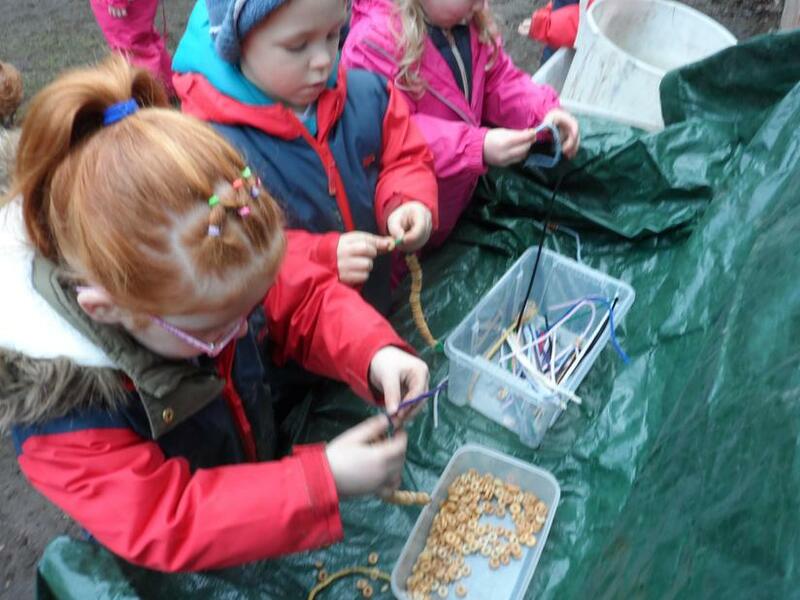 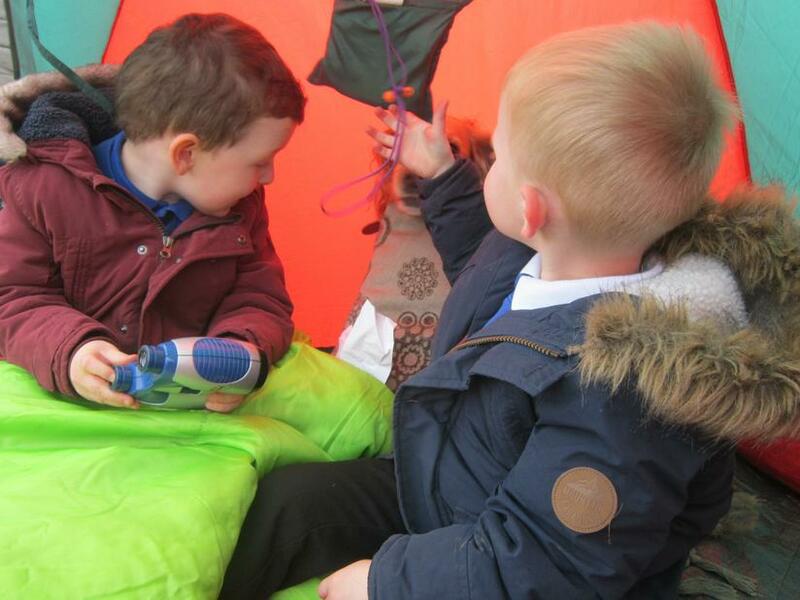 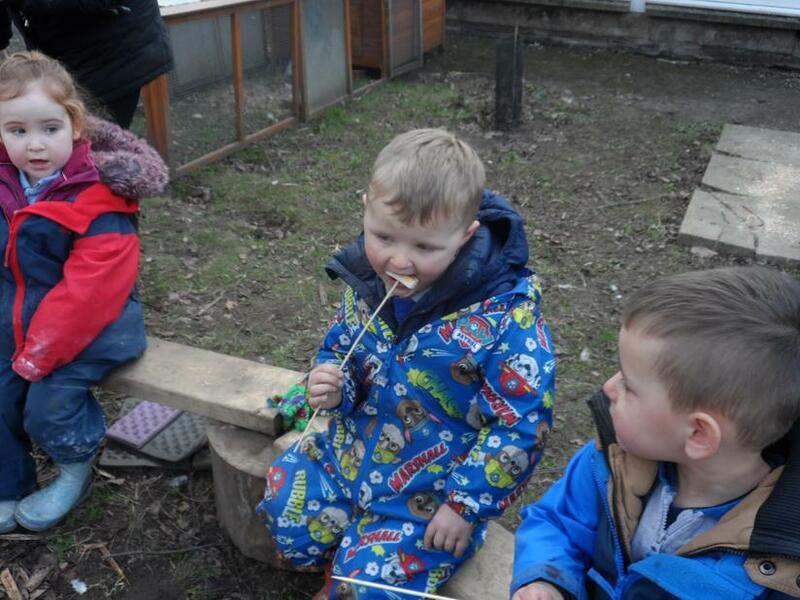 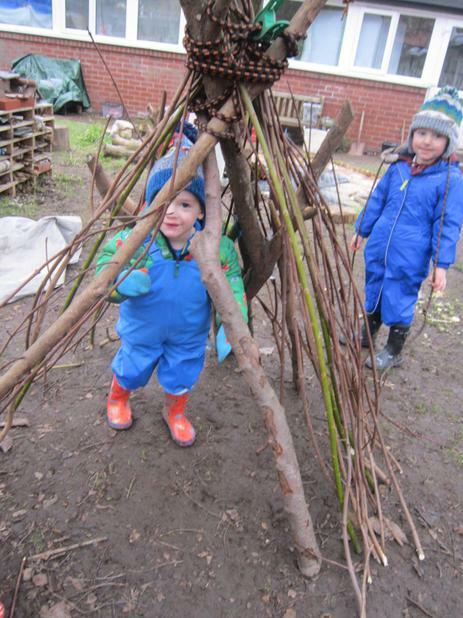 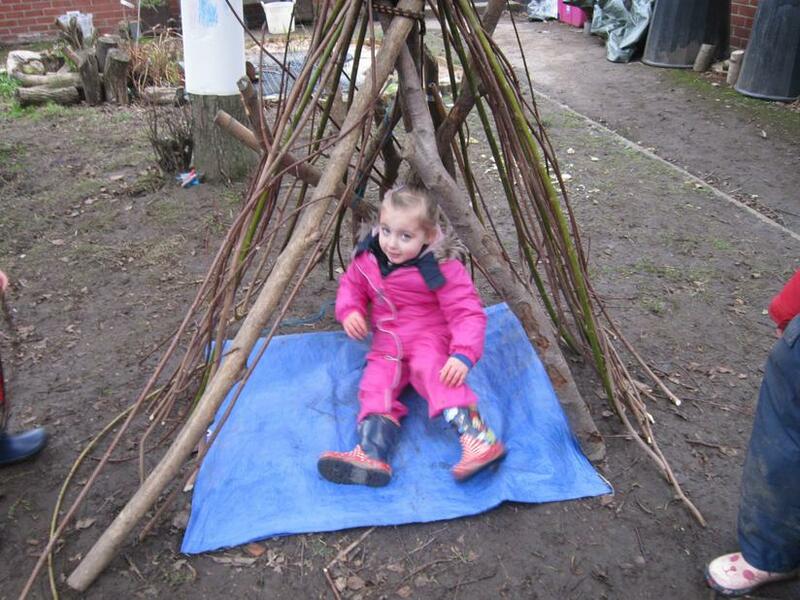 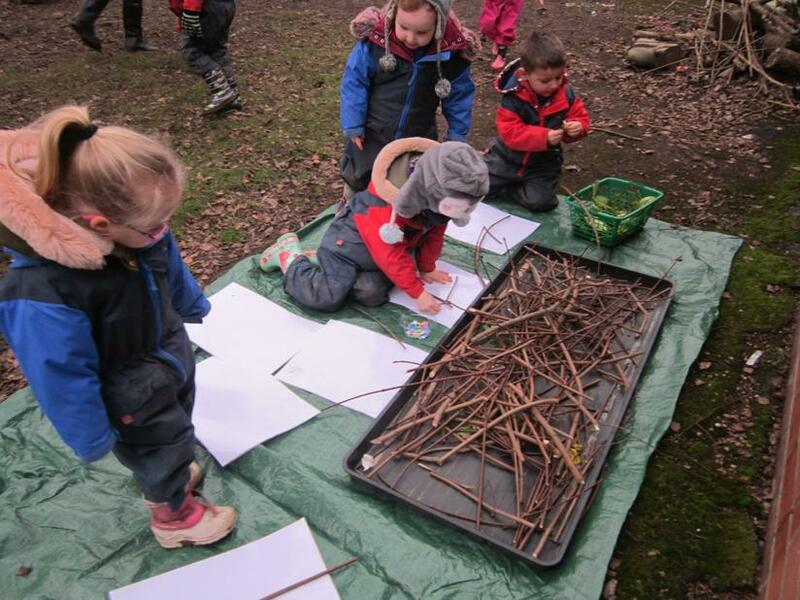 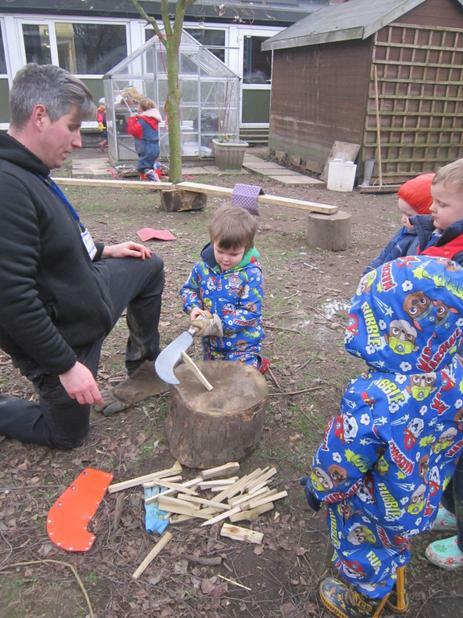 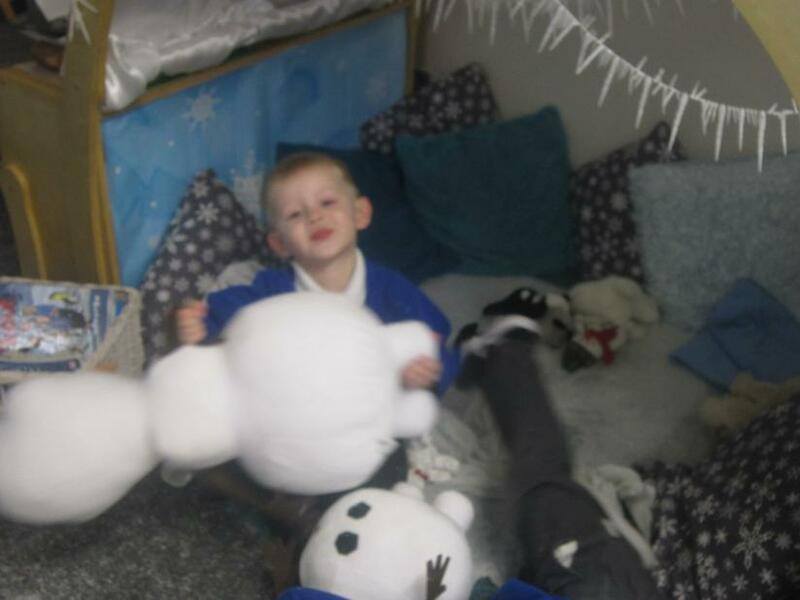 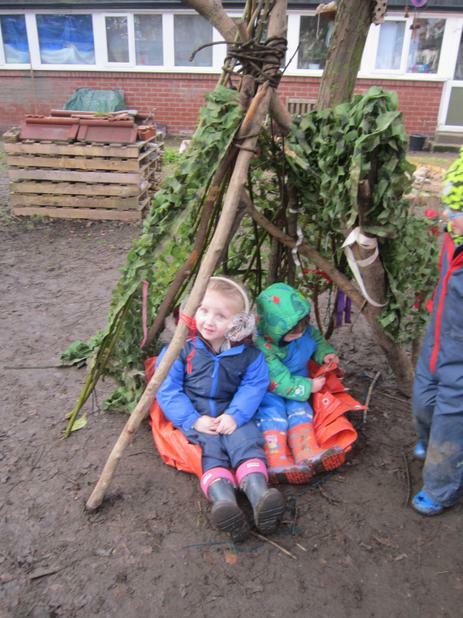 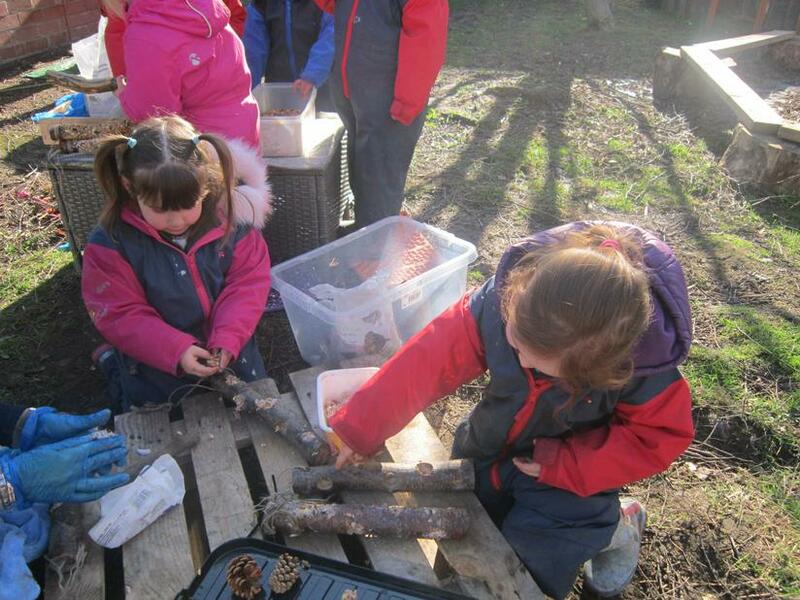 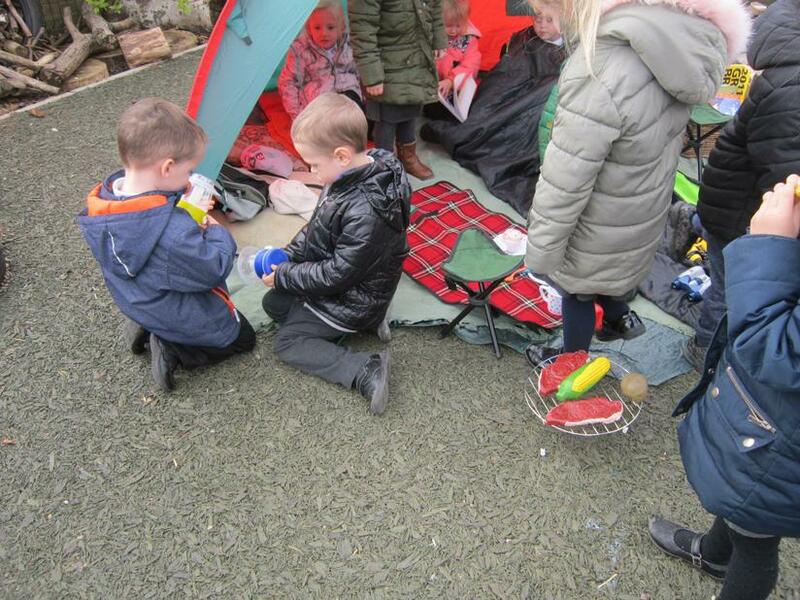 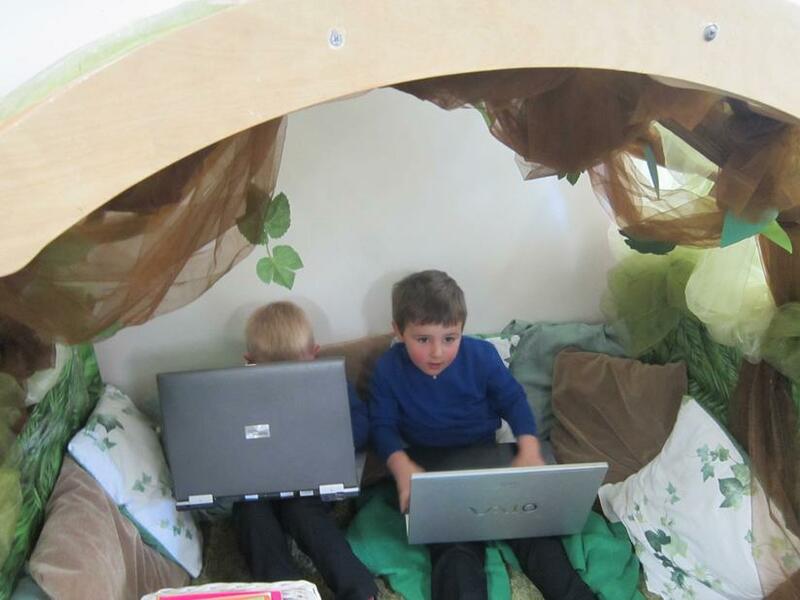 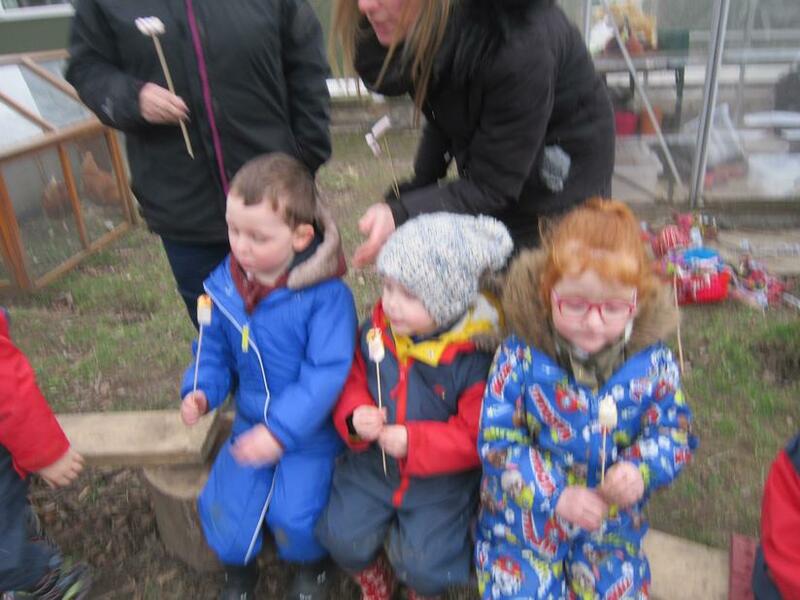 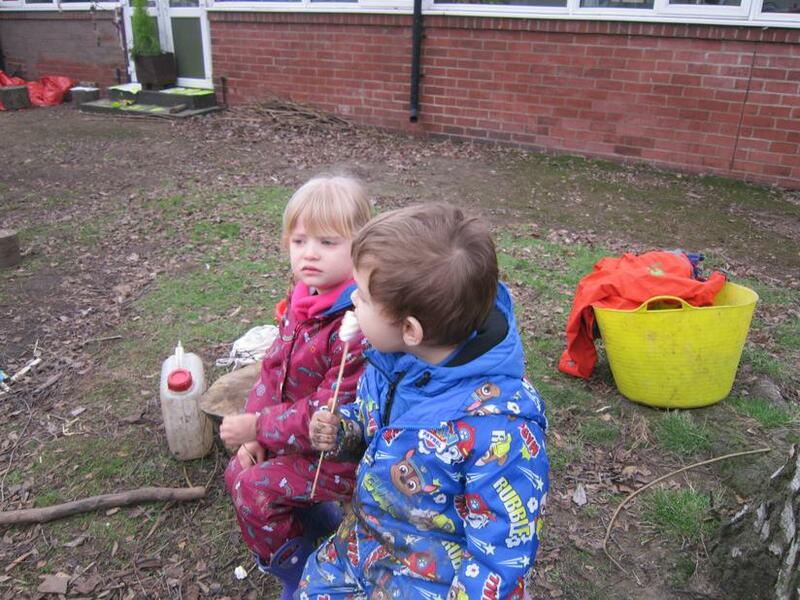 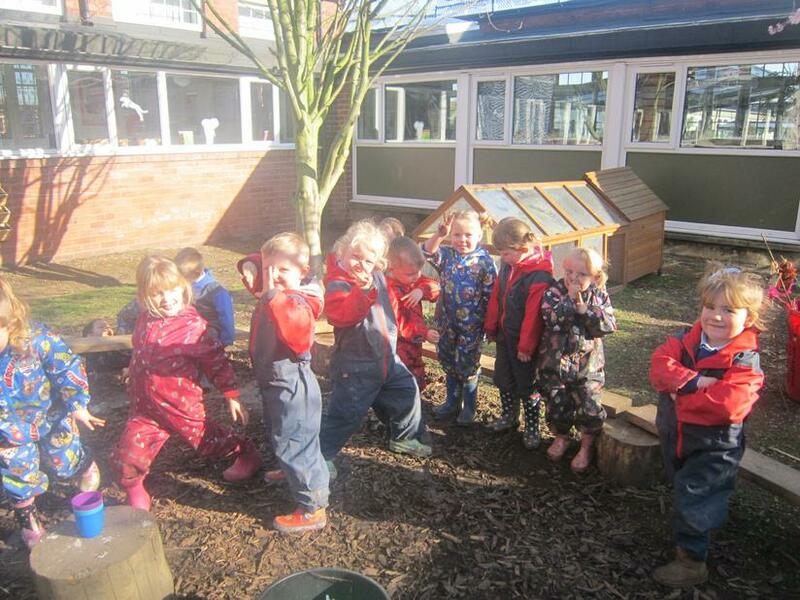 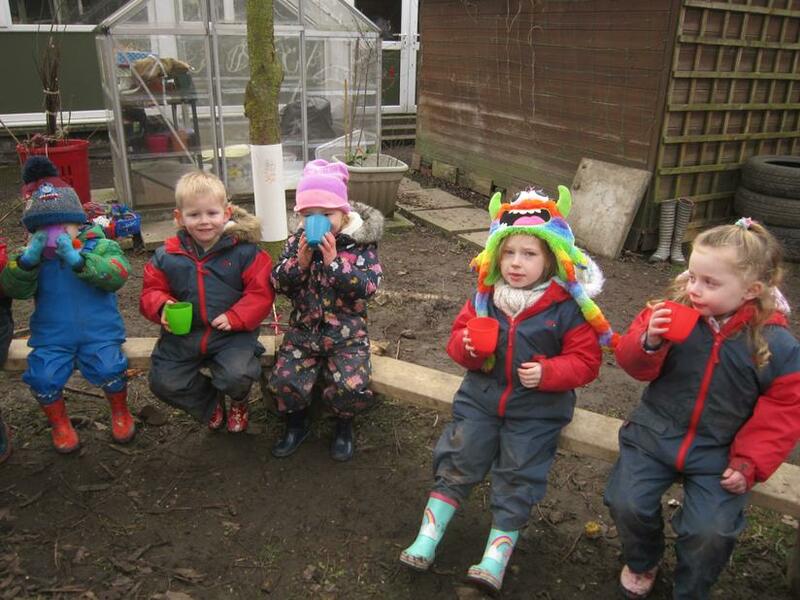 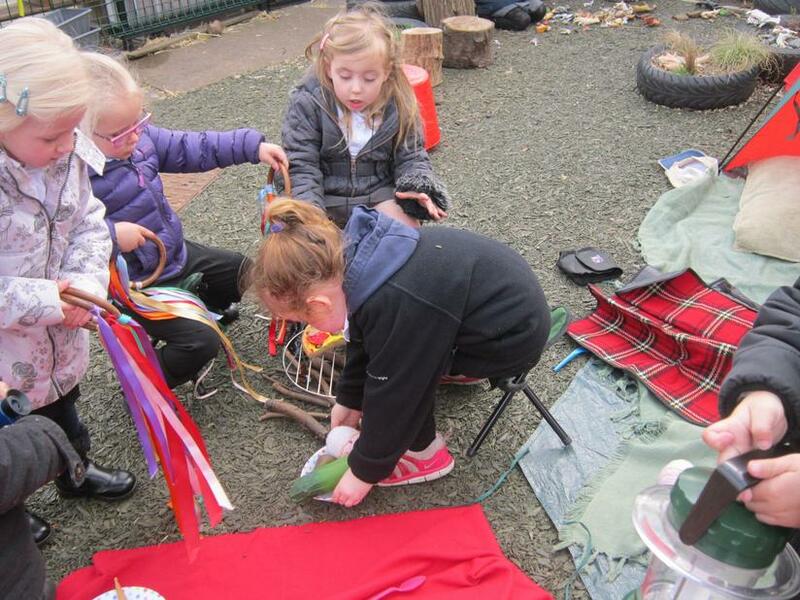 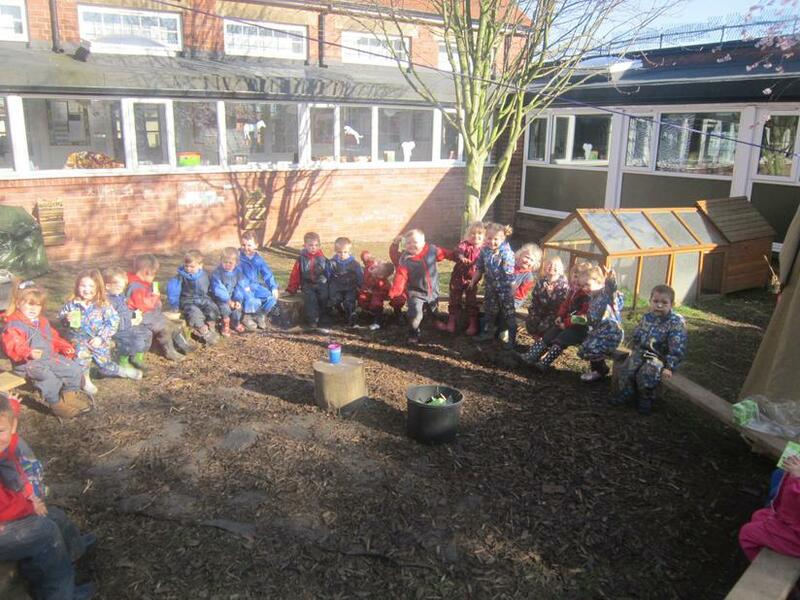 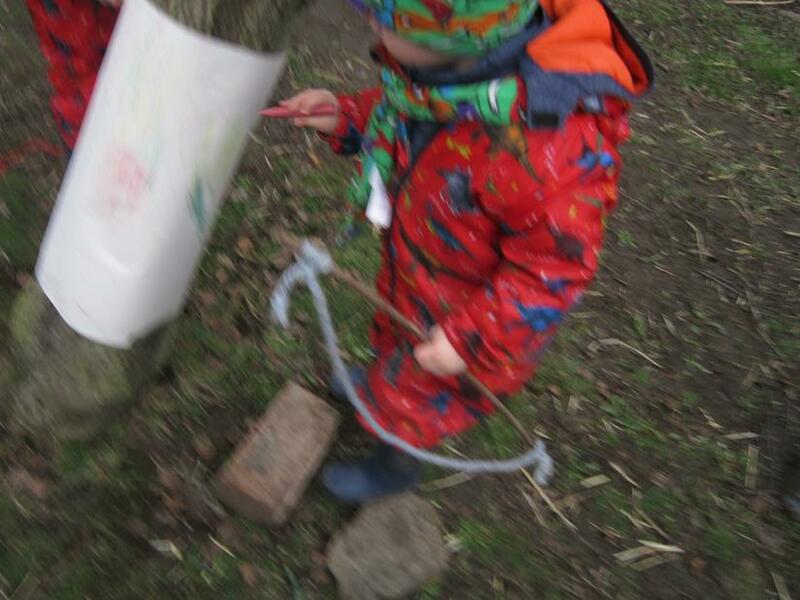 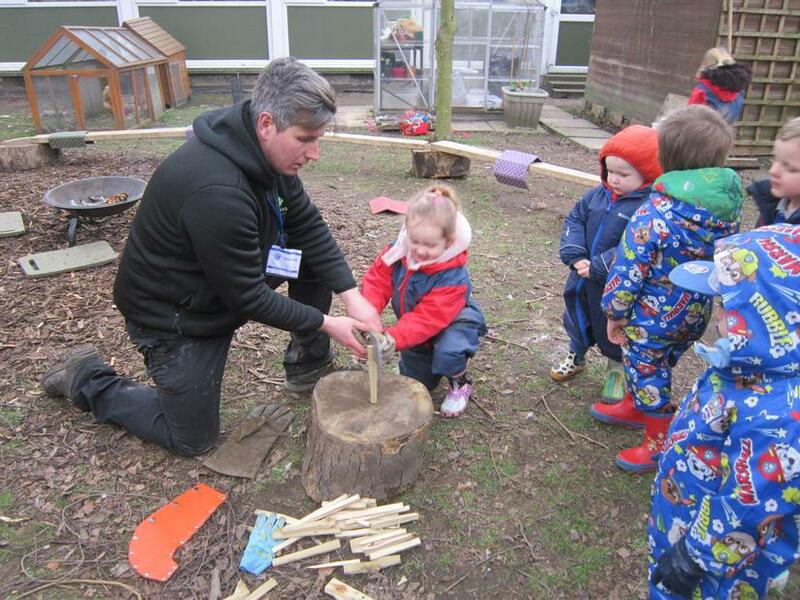 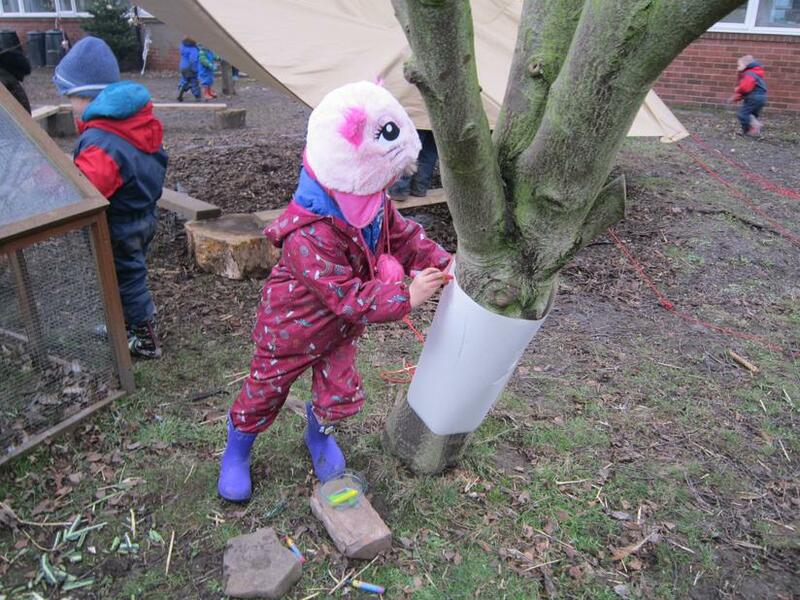 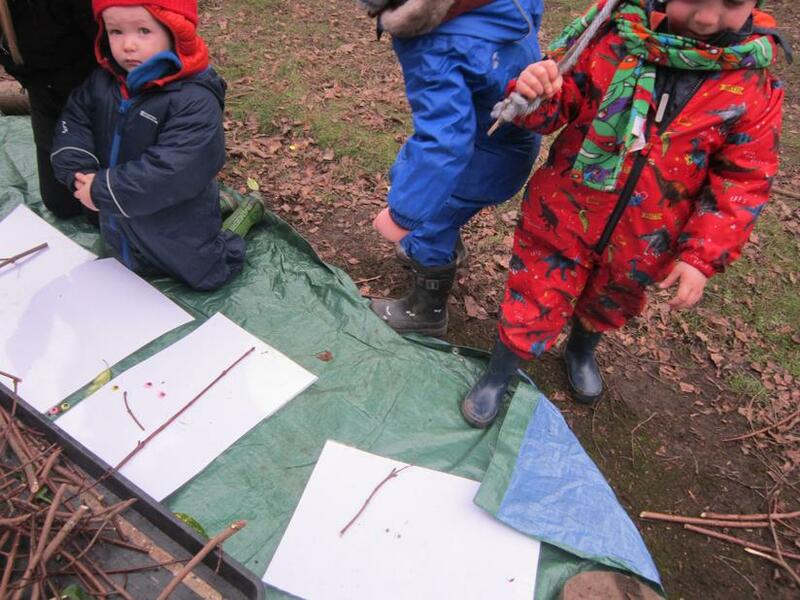 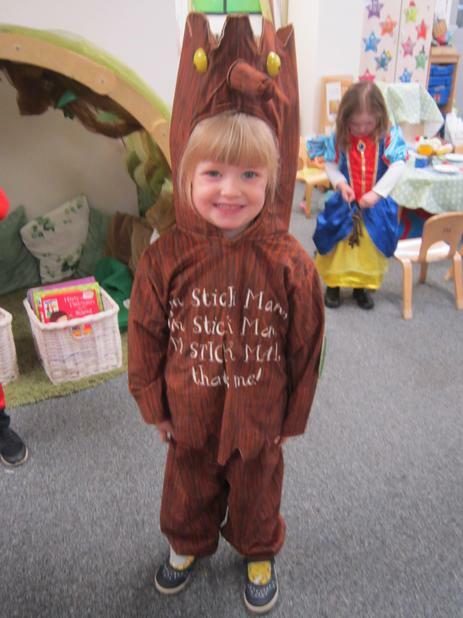 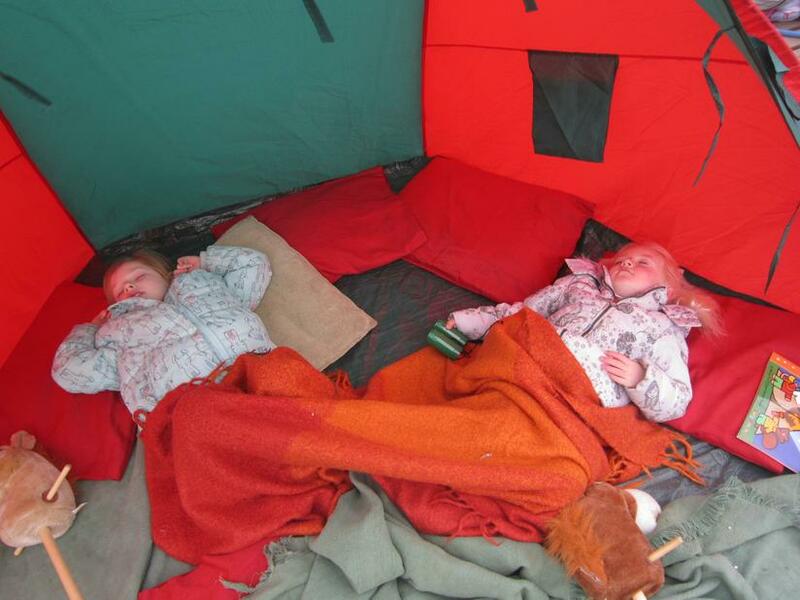 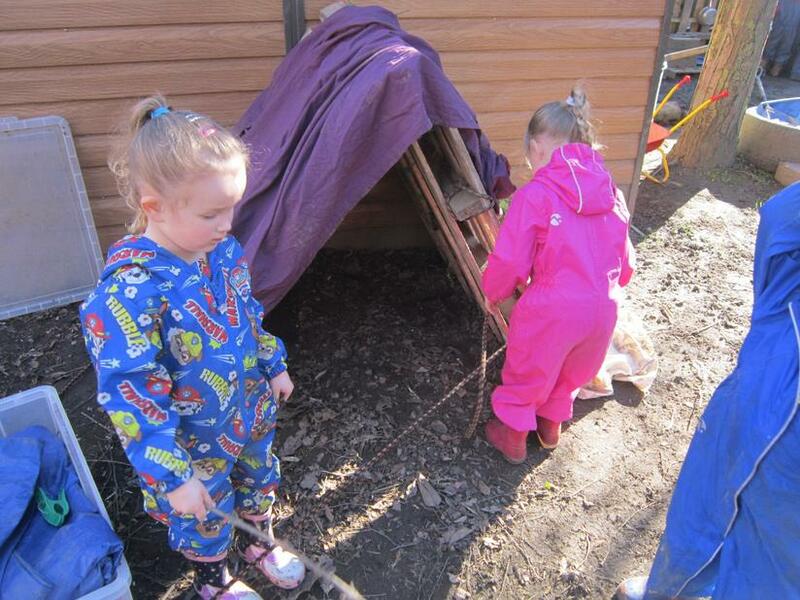 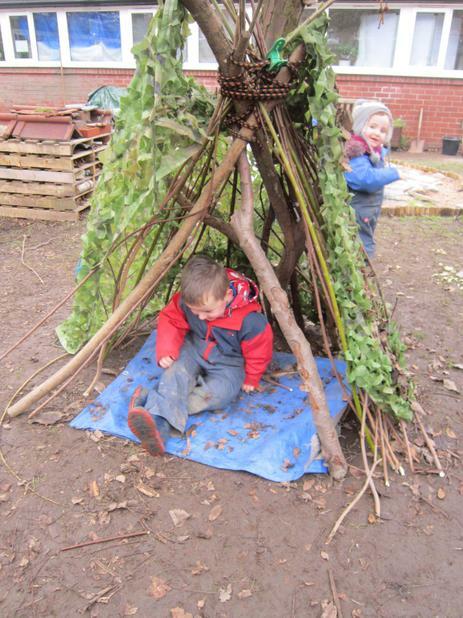 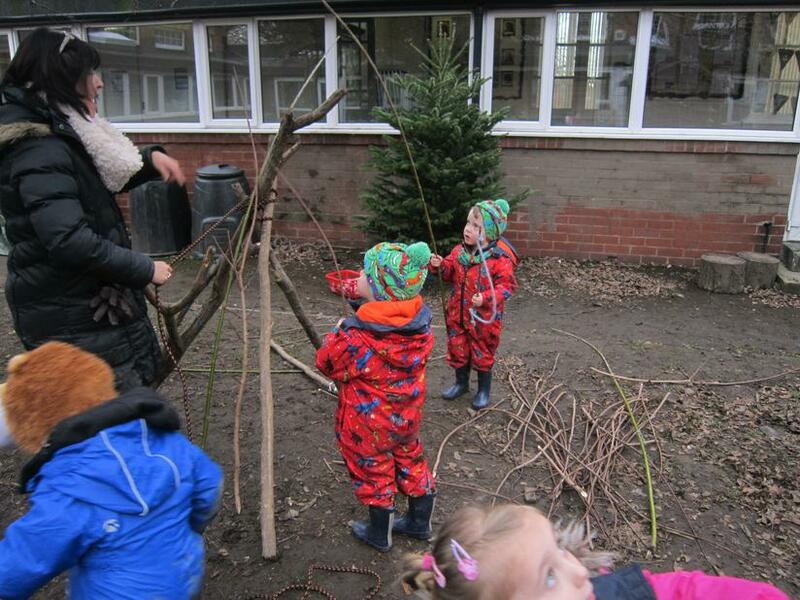 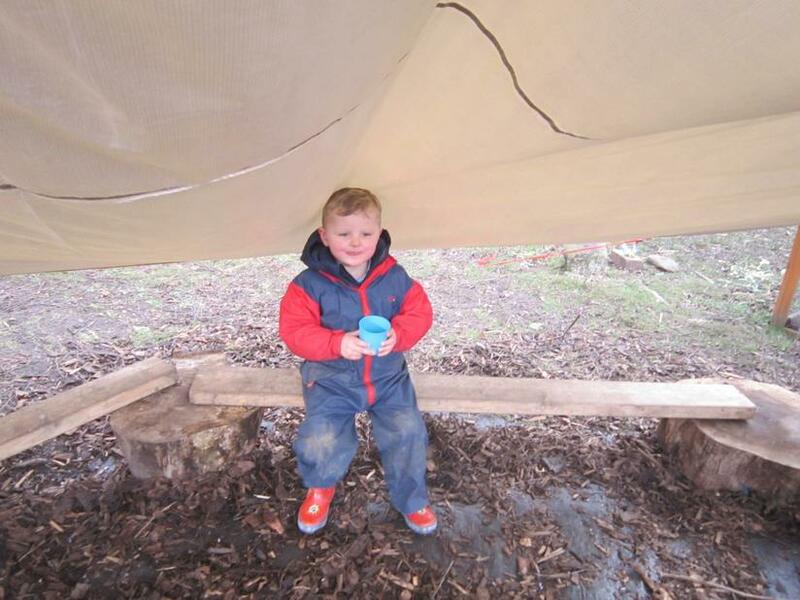 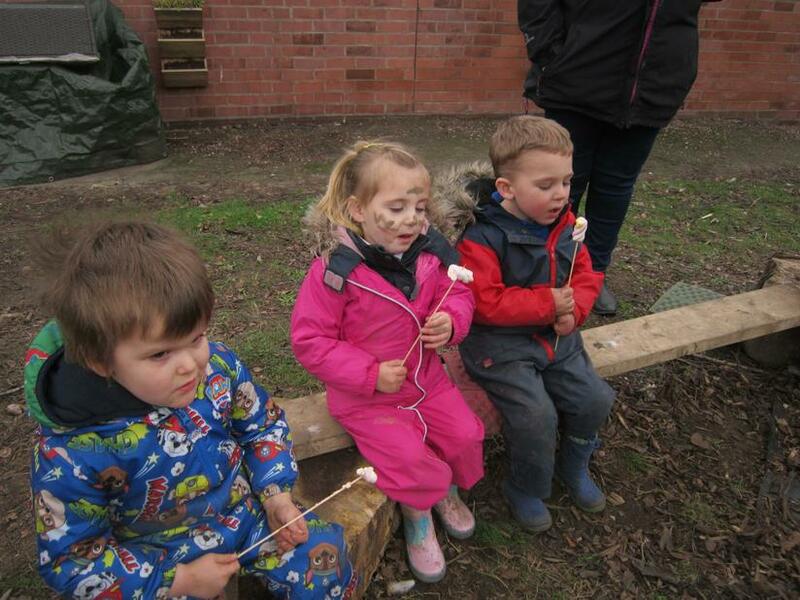 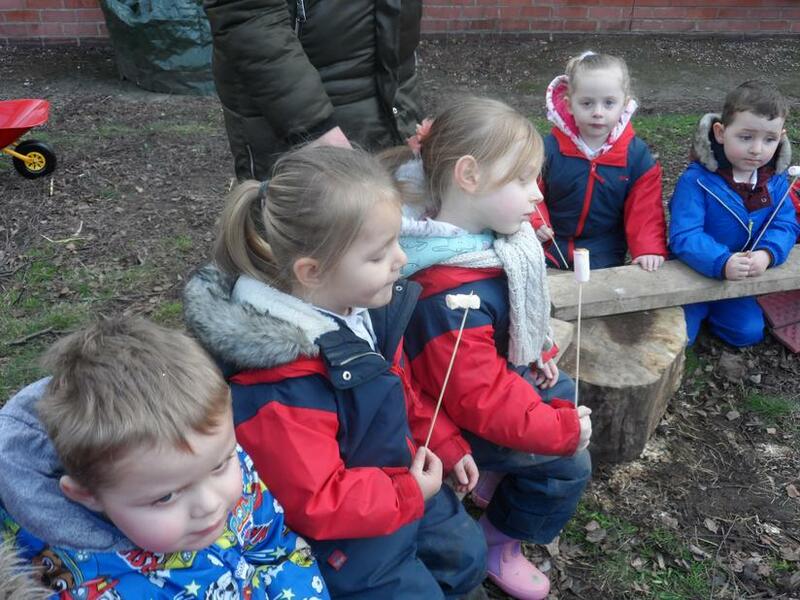 Making stick men, den building, bark rubbing and hot chocolate . 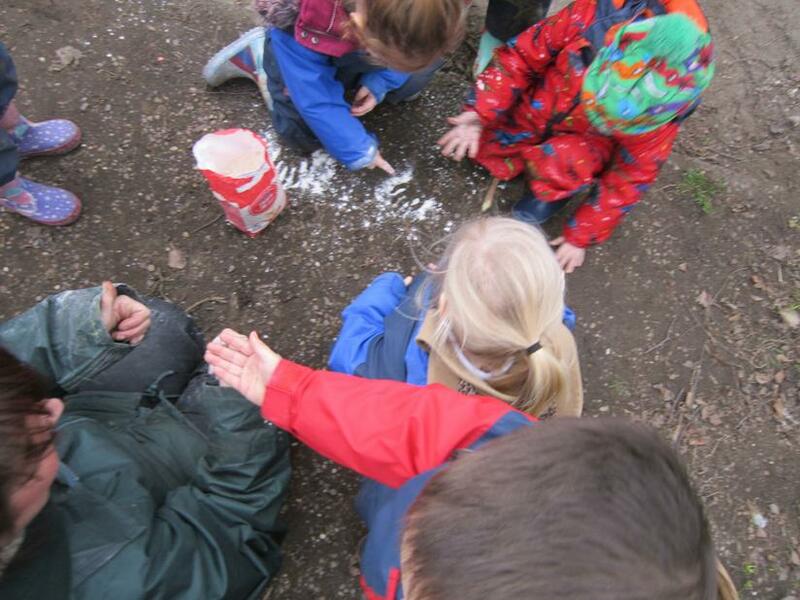 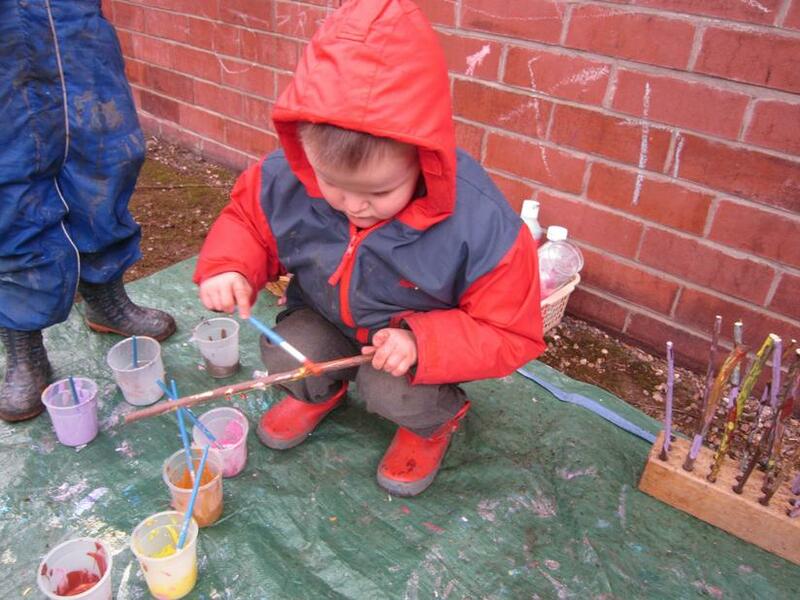 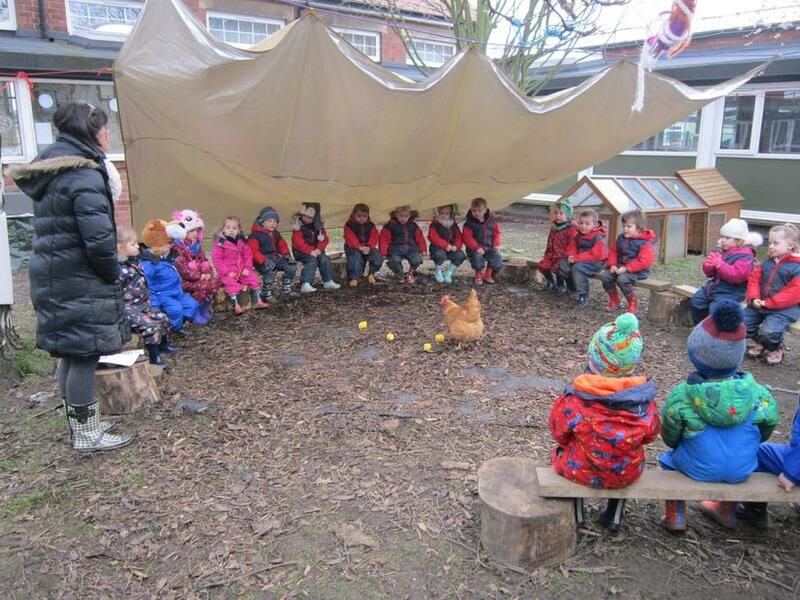 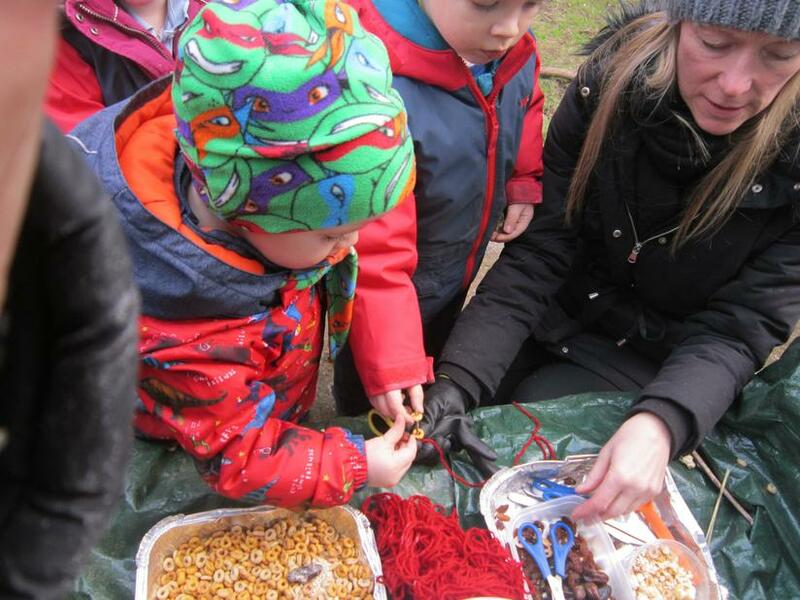 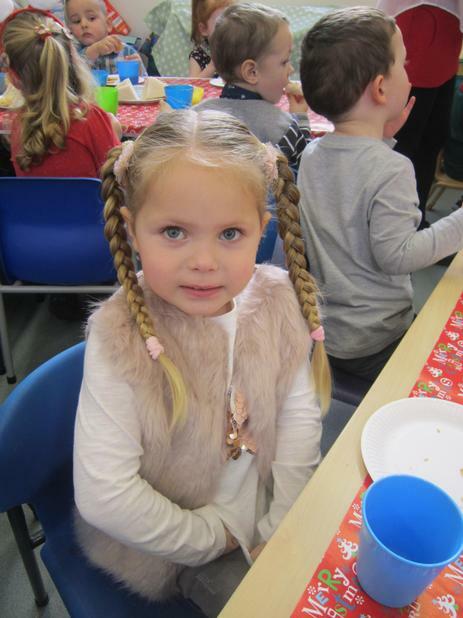 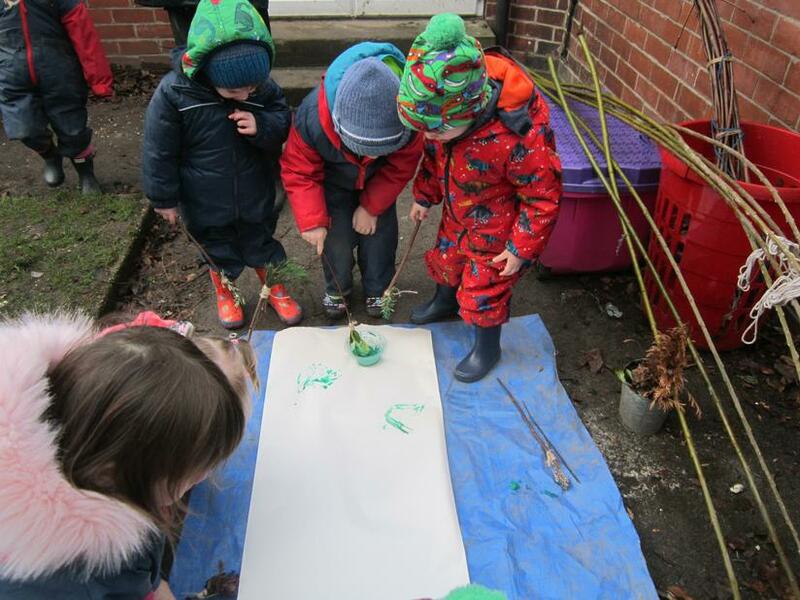 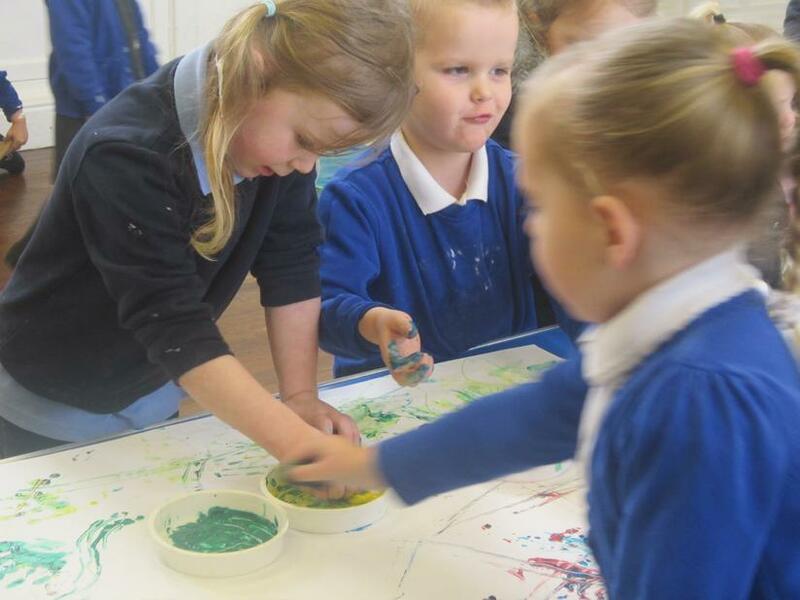 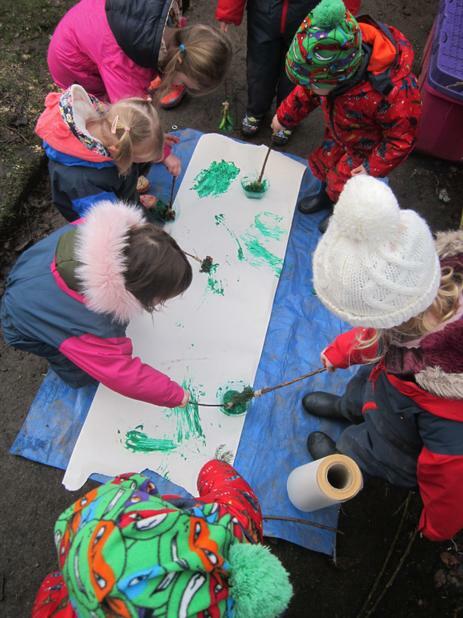 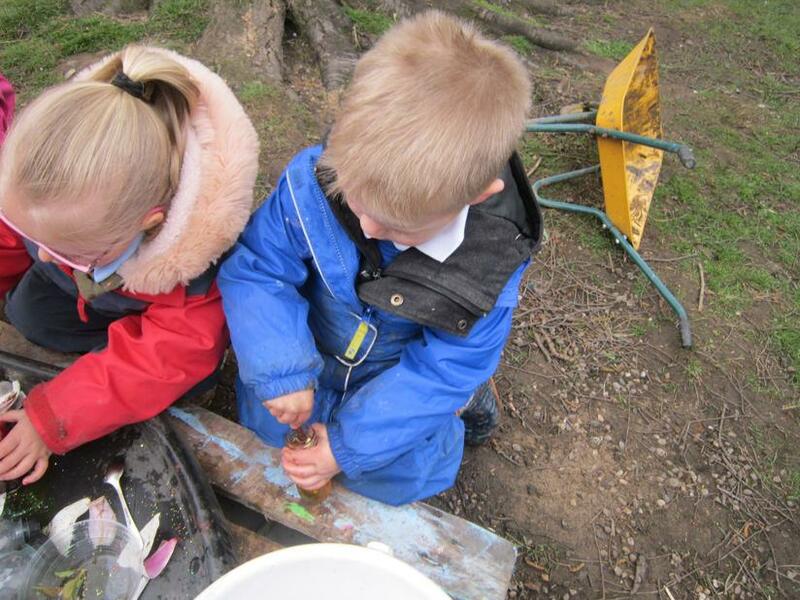 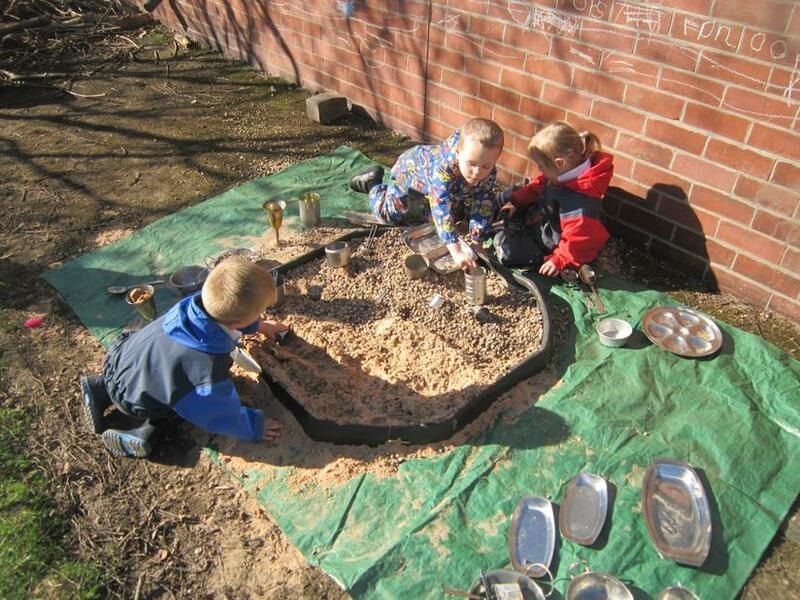 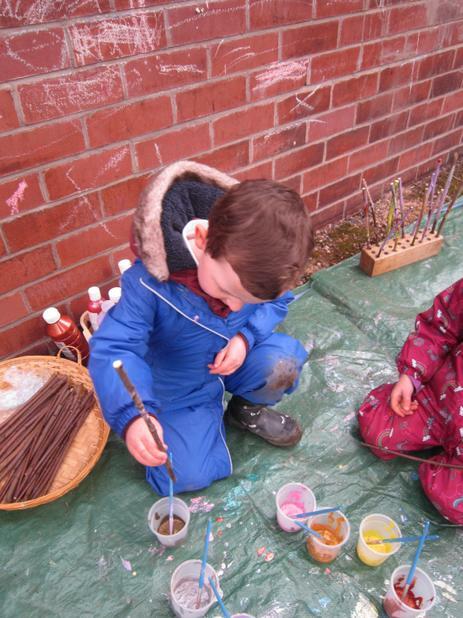 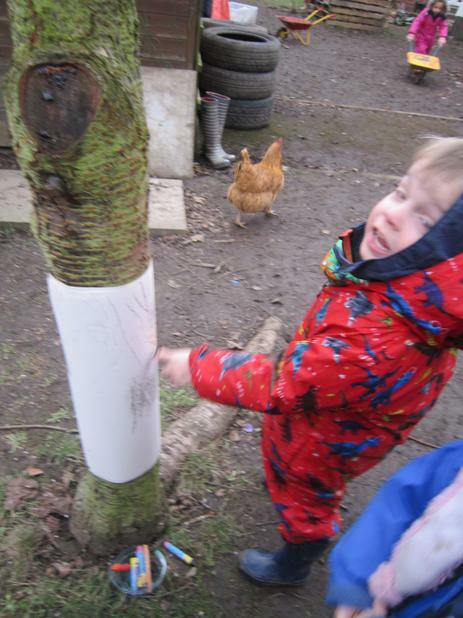 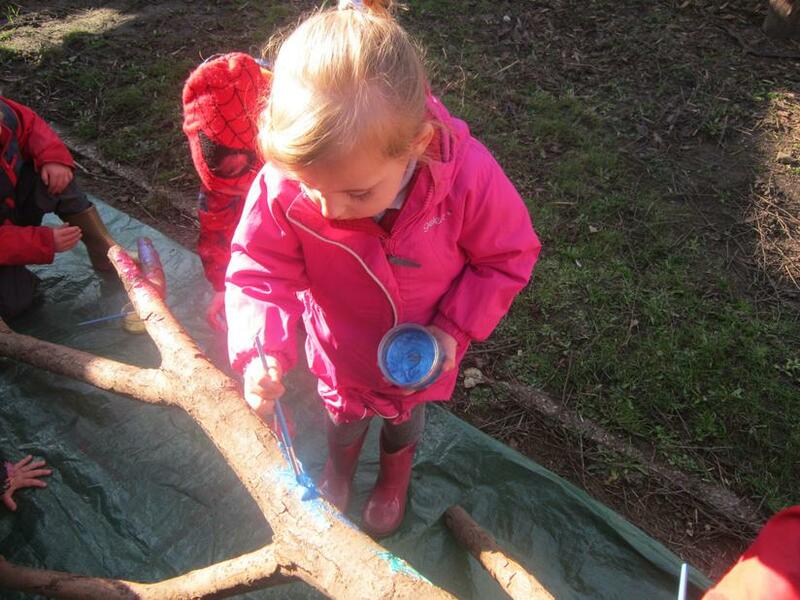 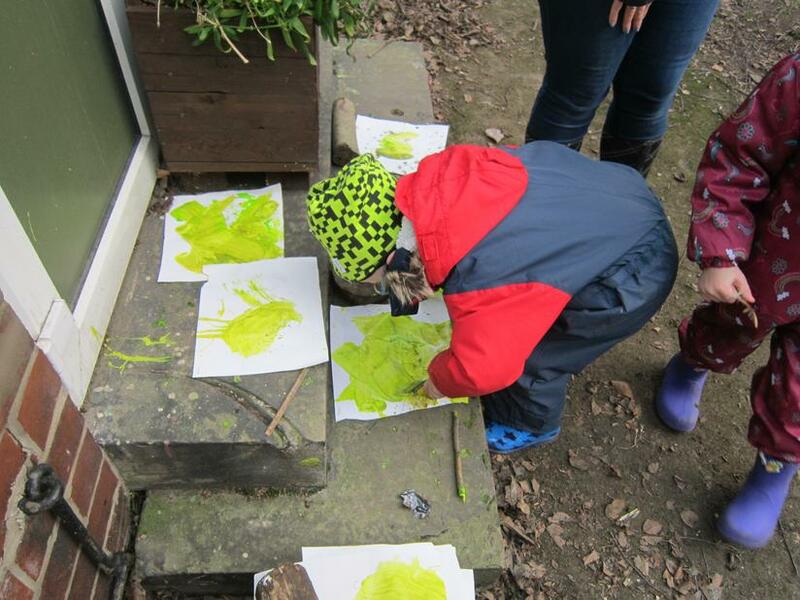 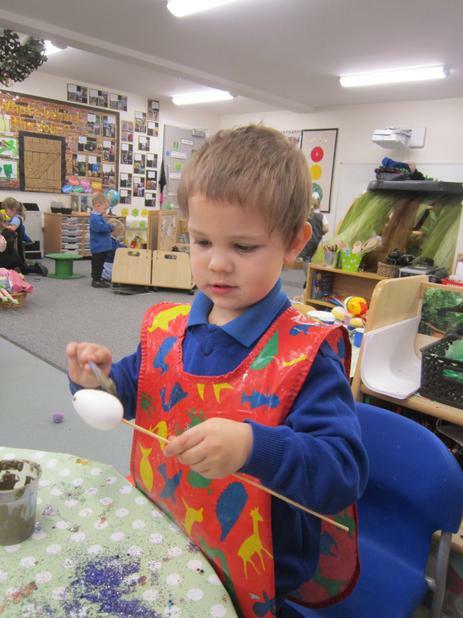 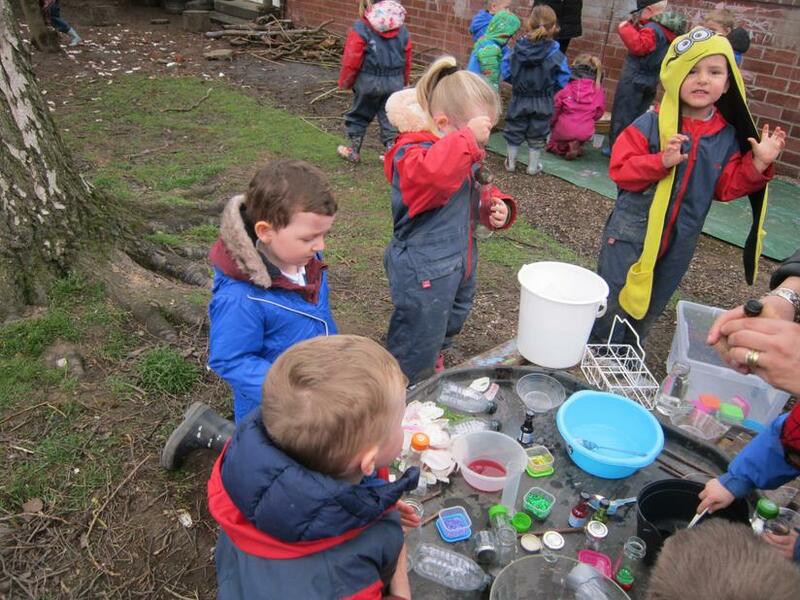 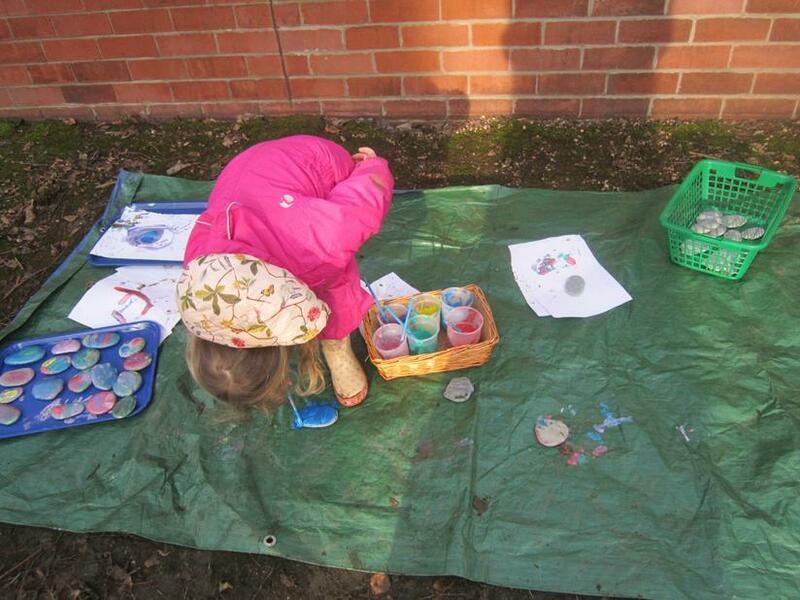 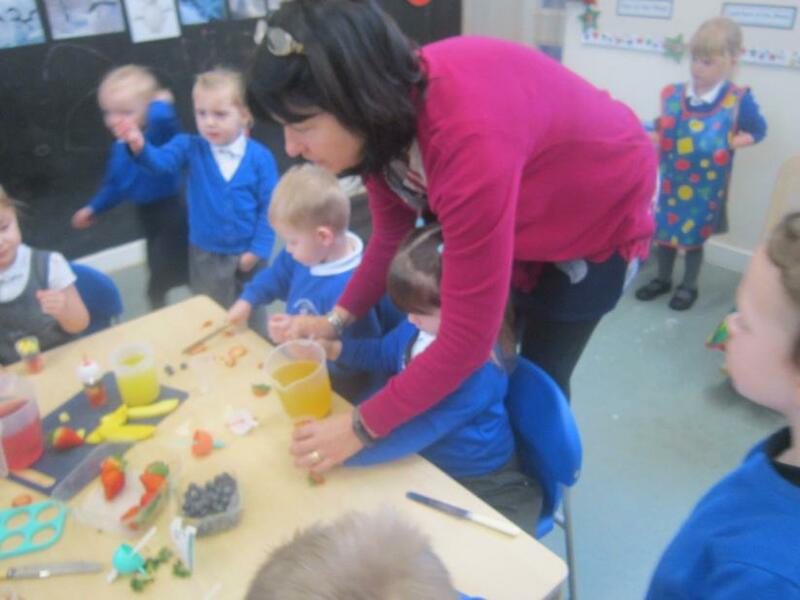 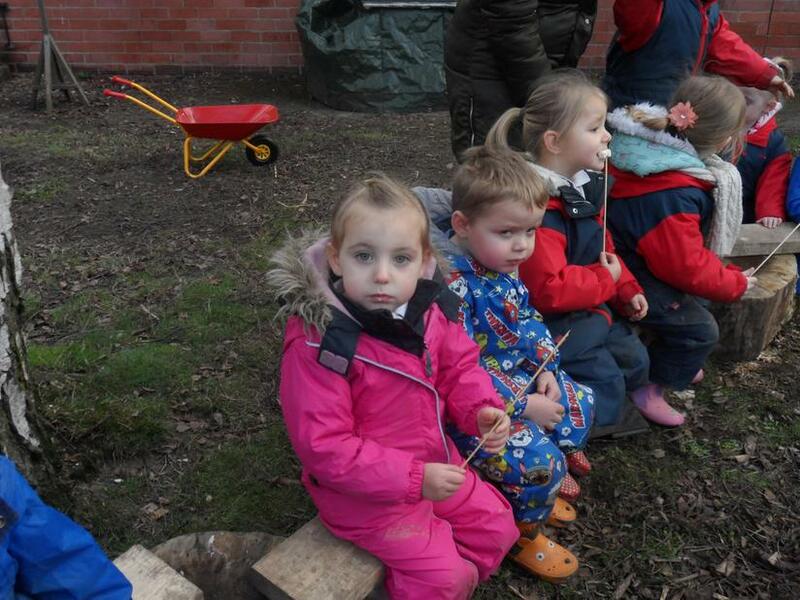 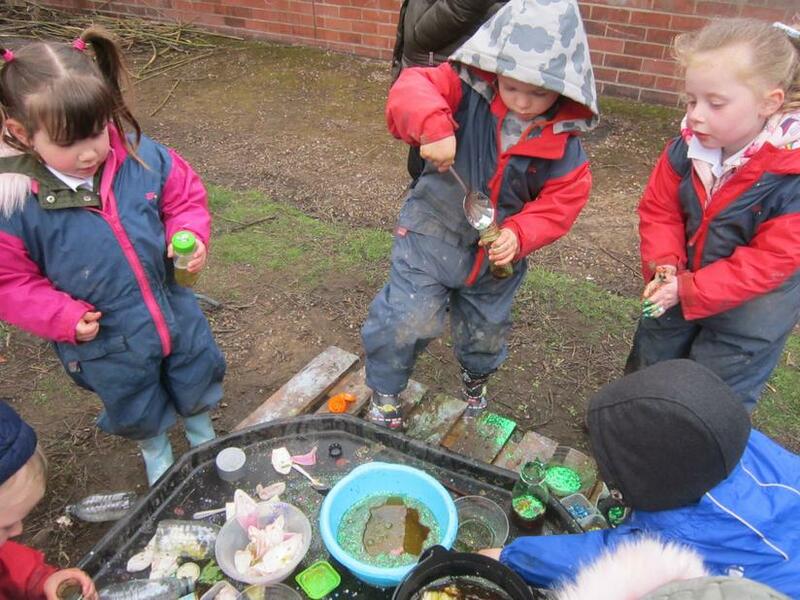 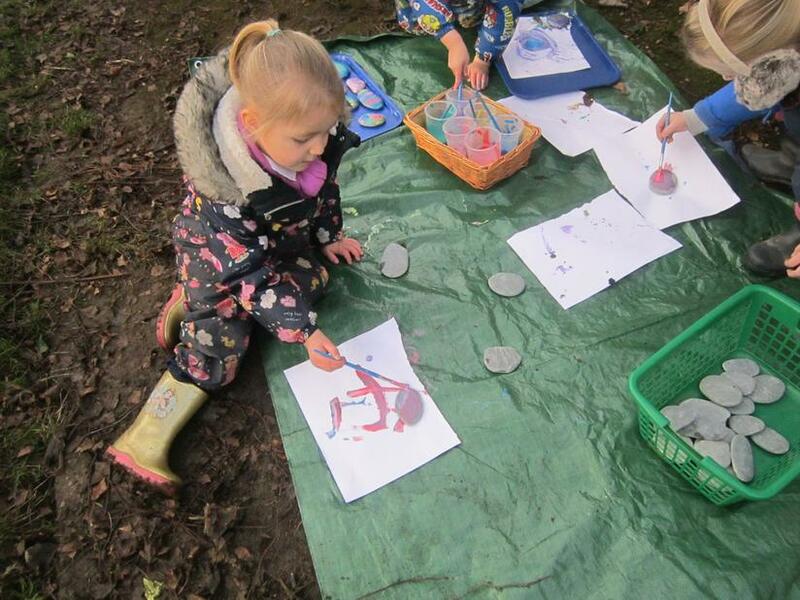 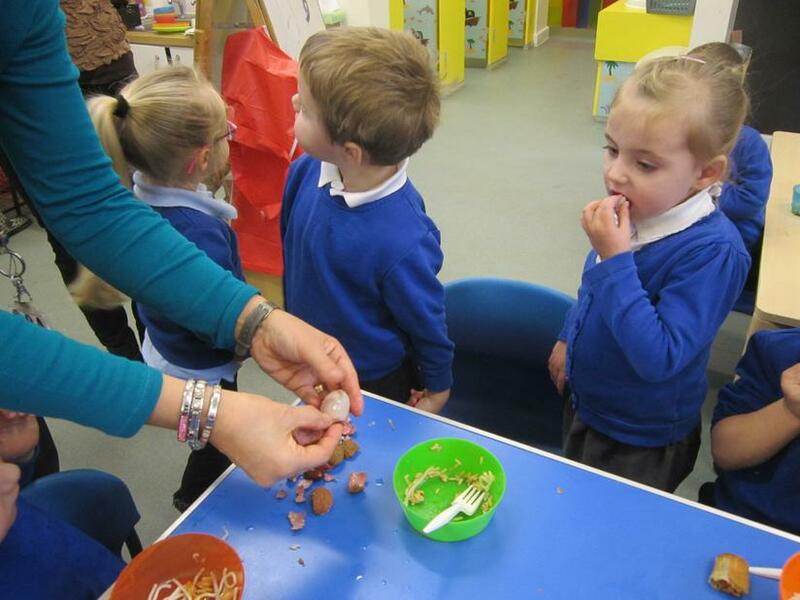 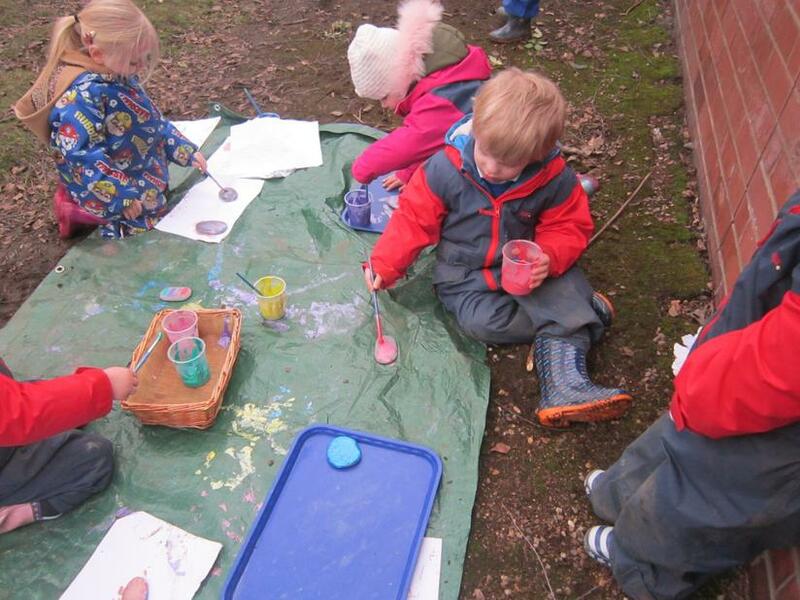 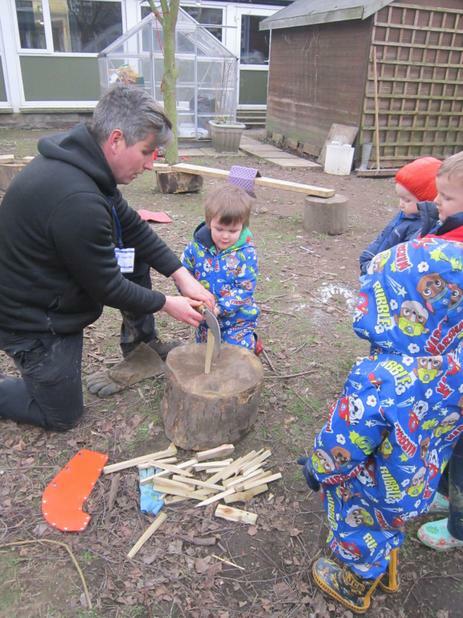 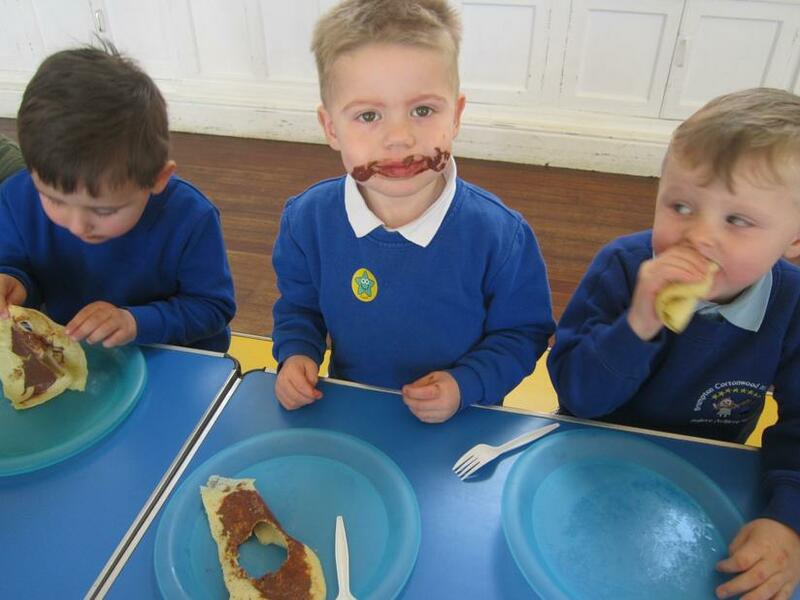 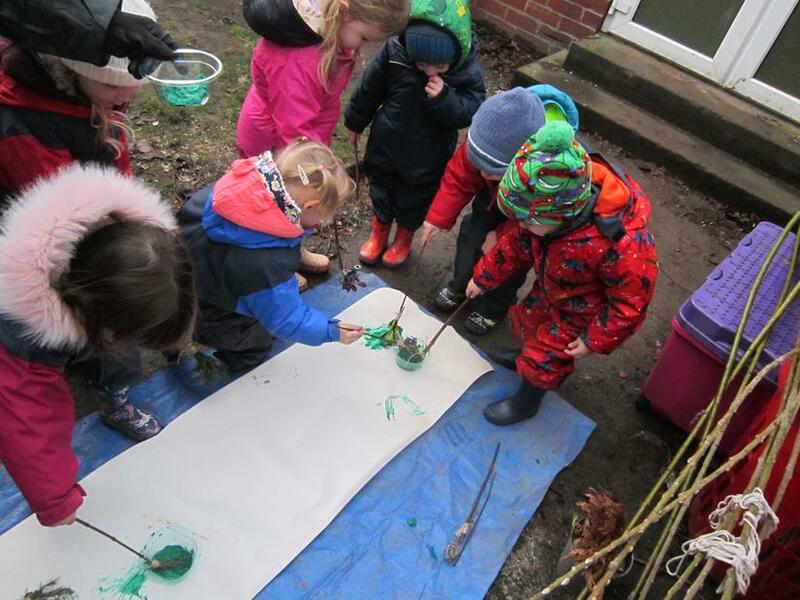 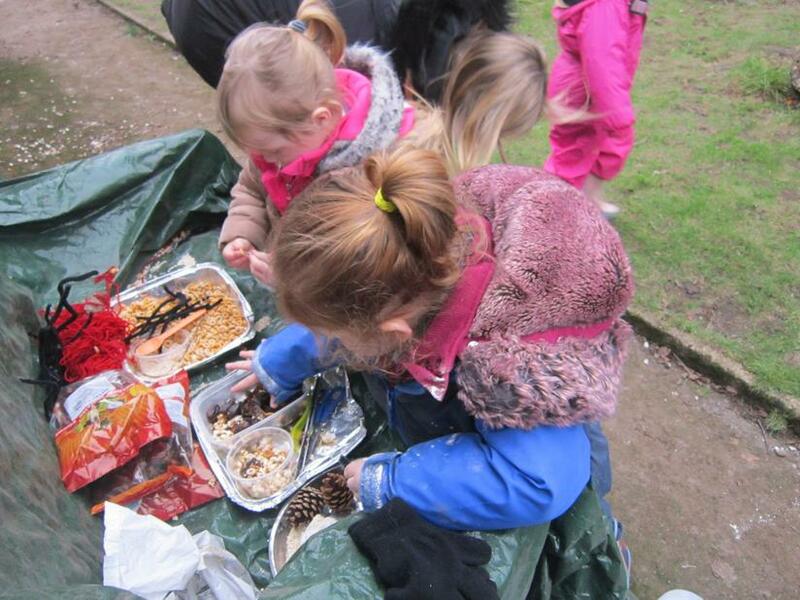 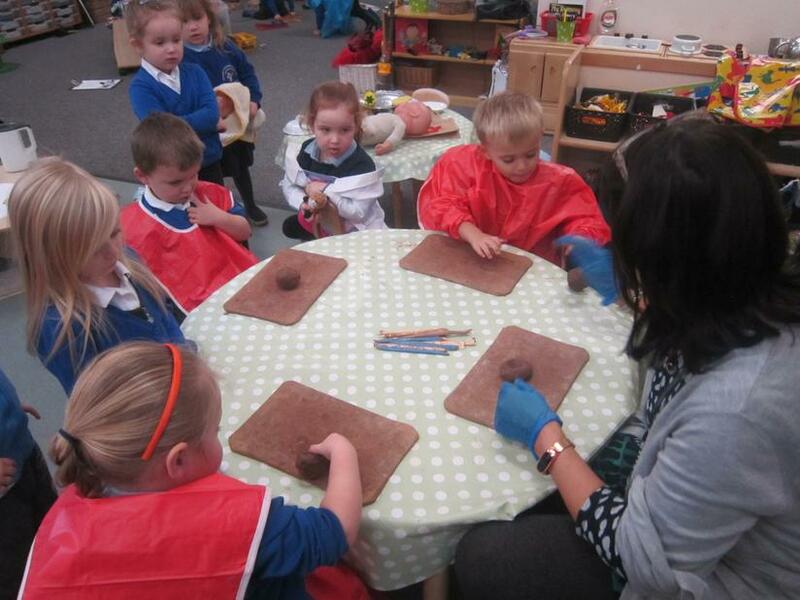 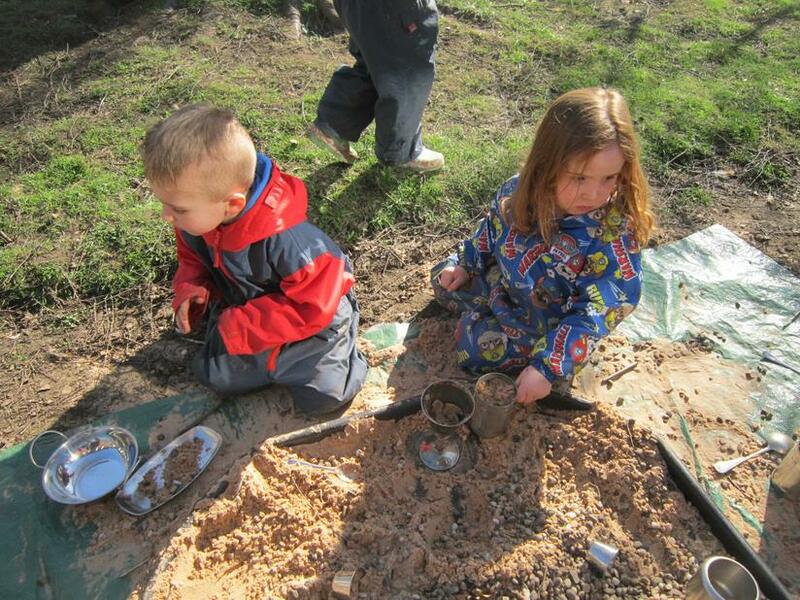 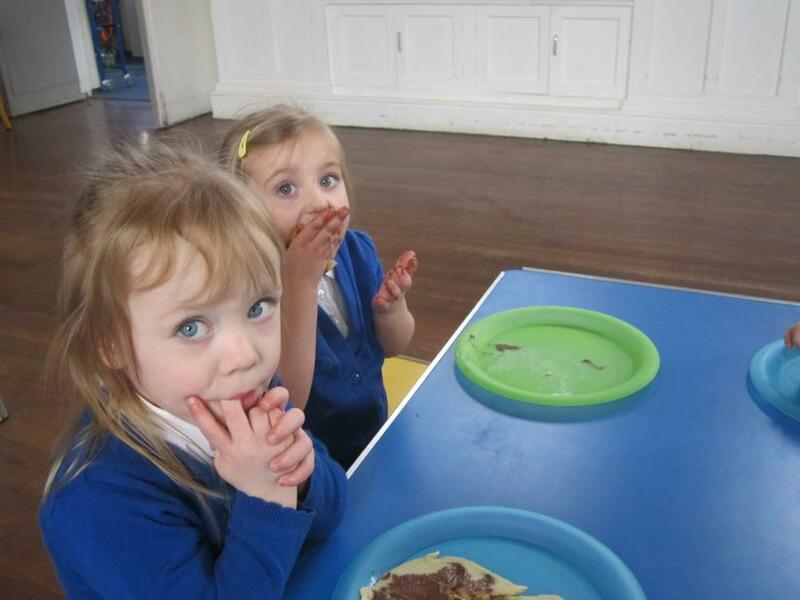 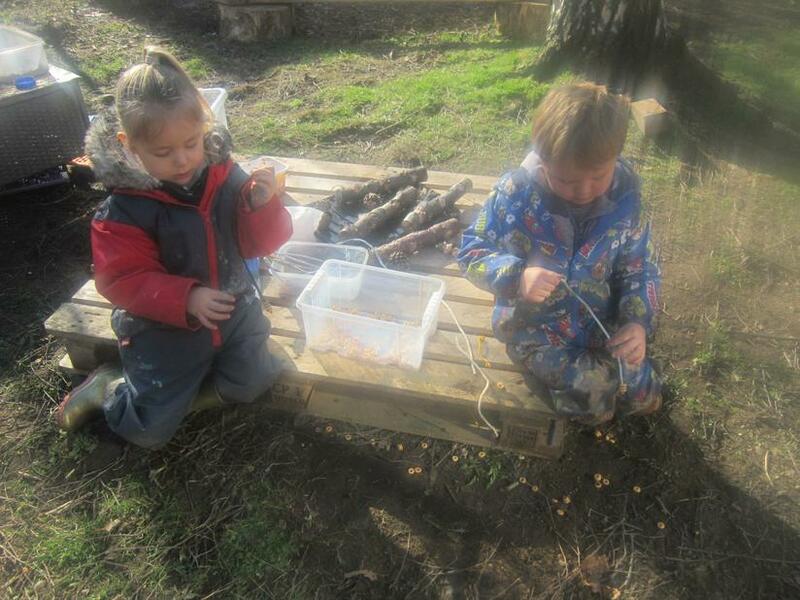 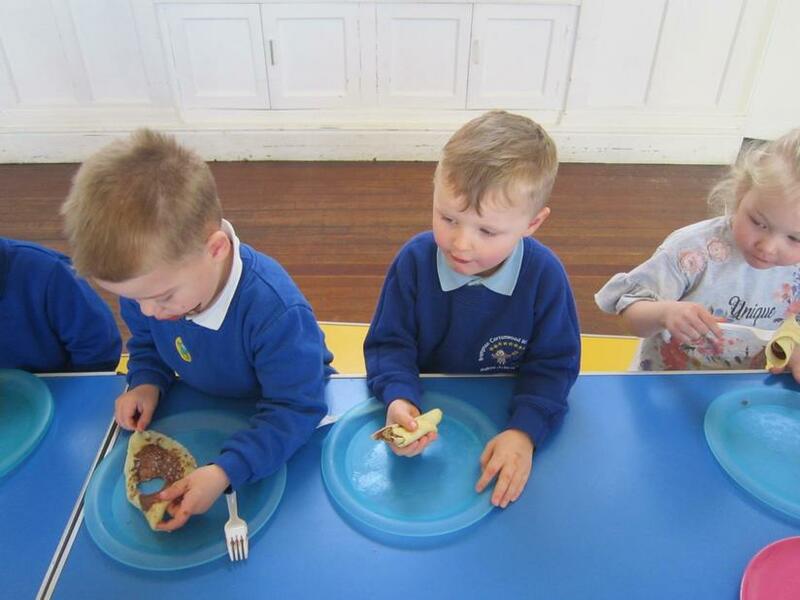 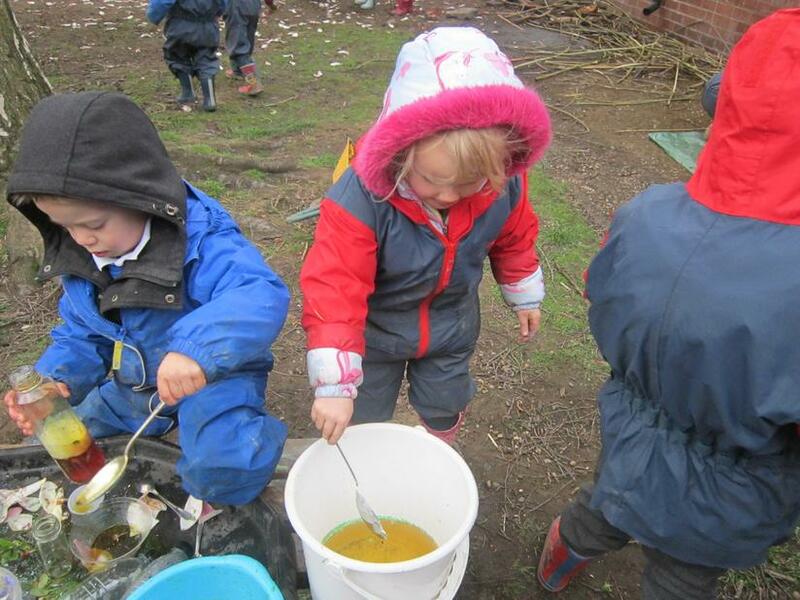 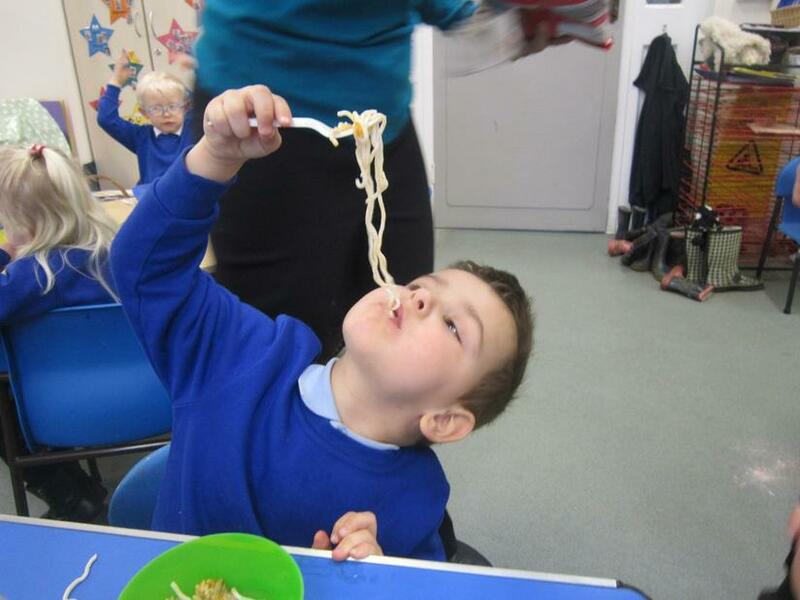 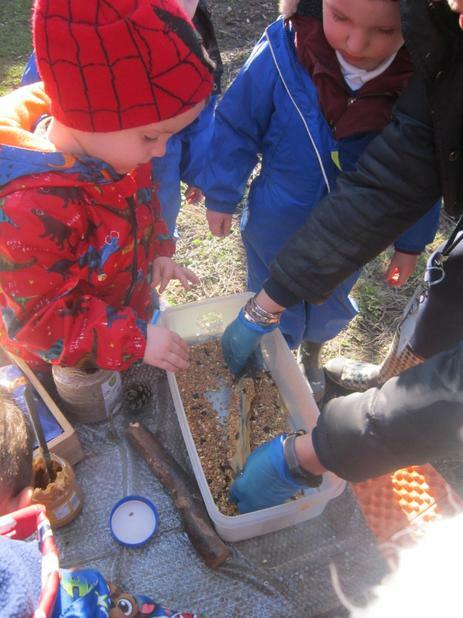 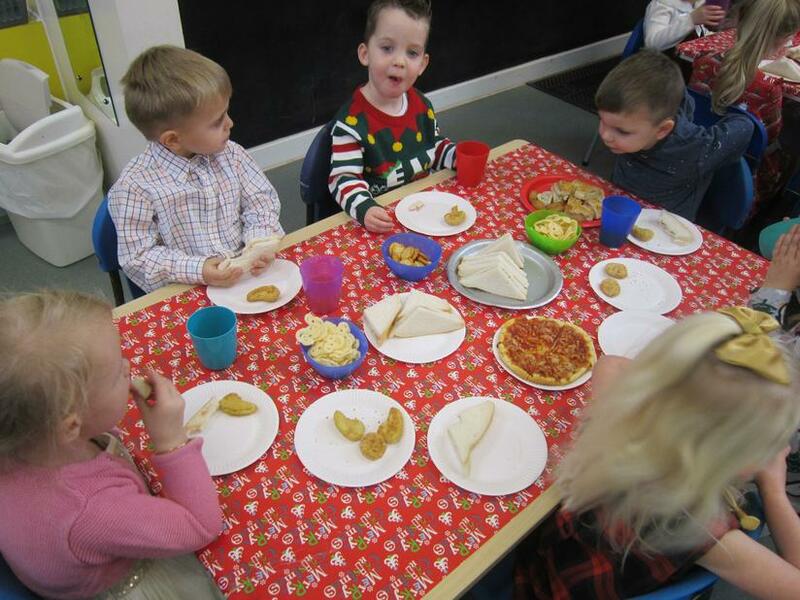 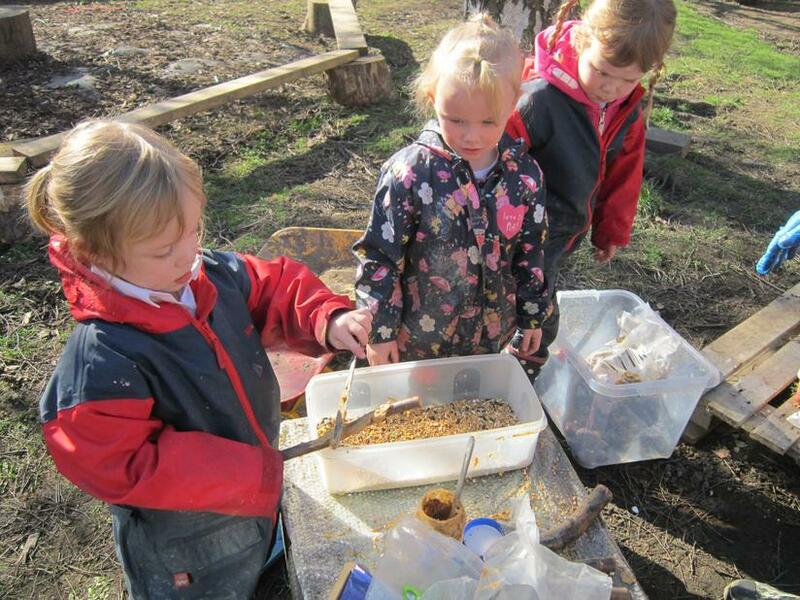 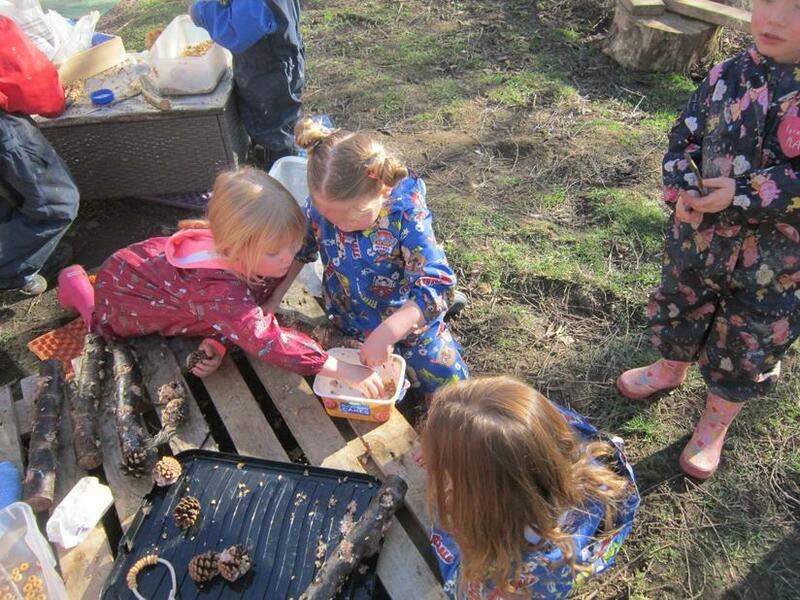 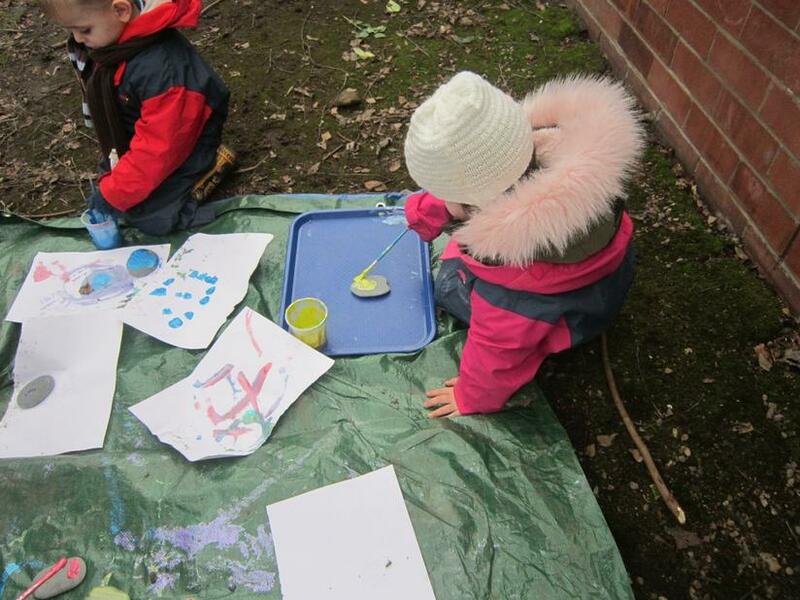 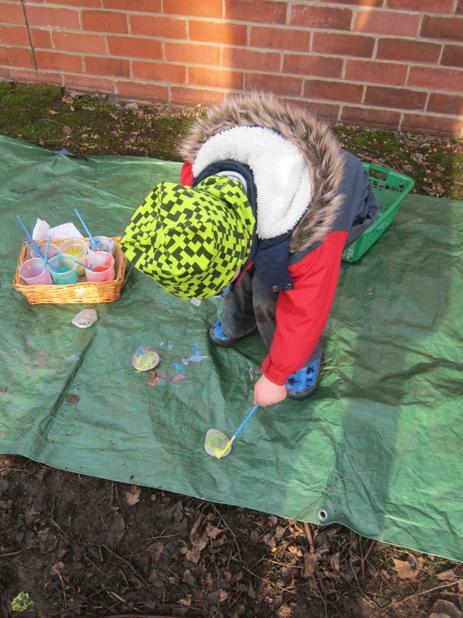 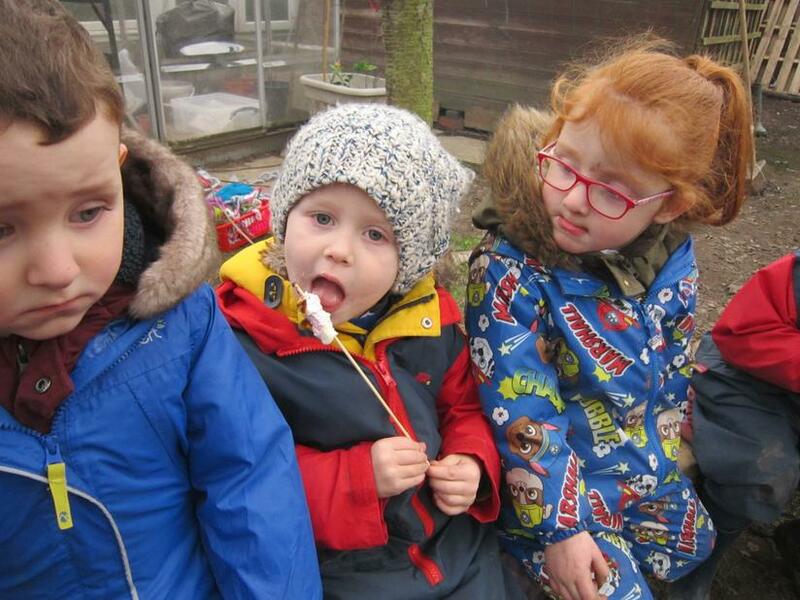 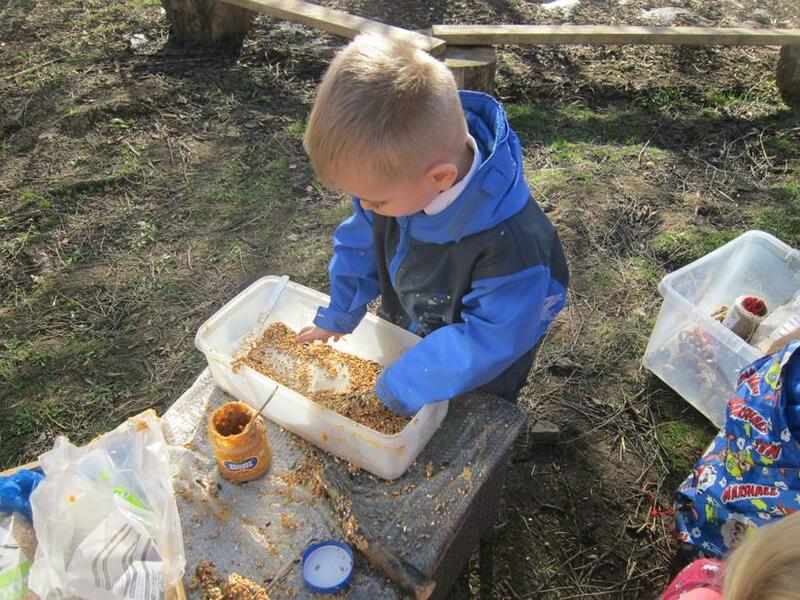 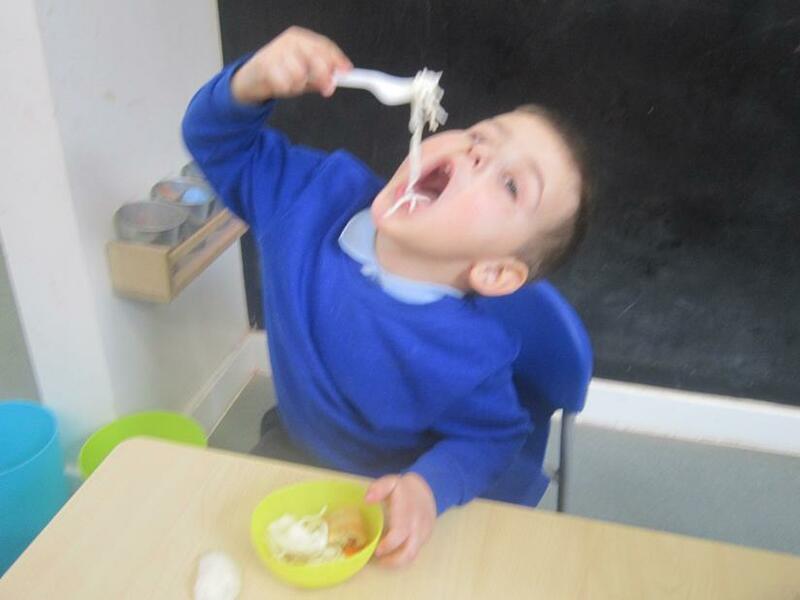 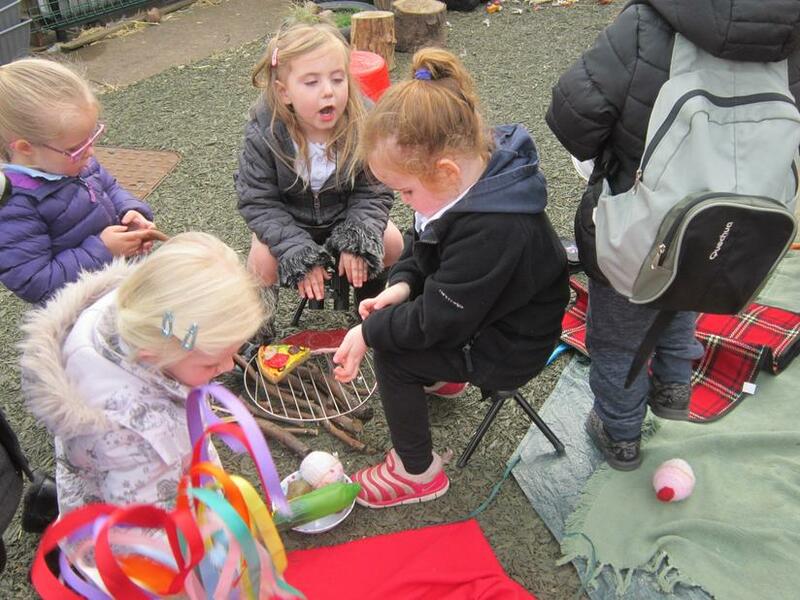 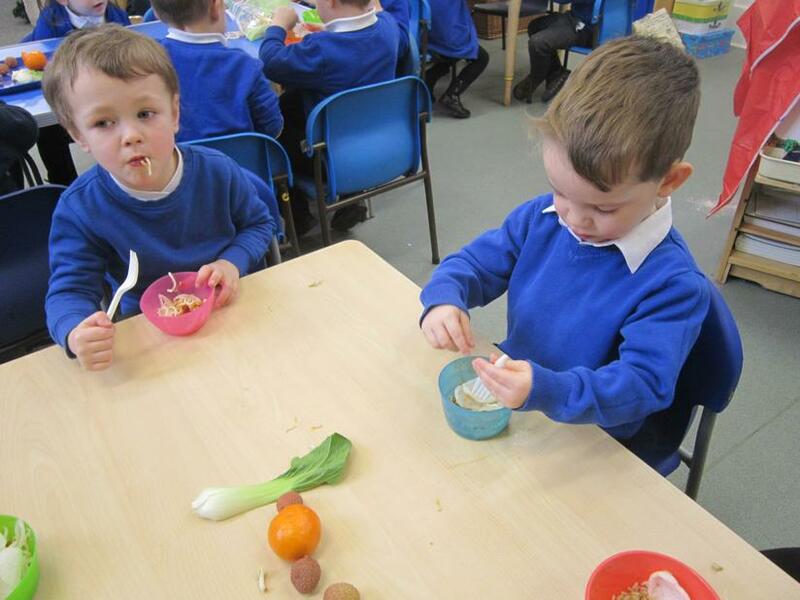 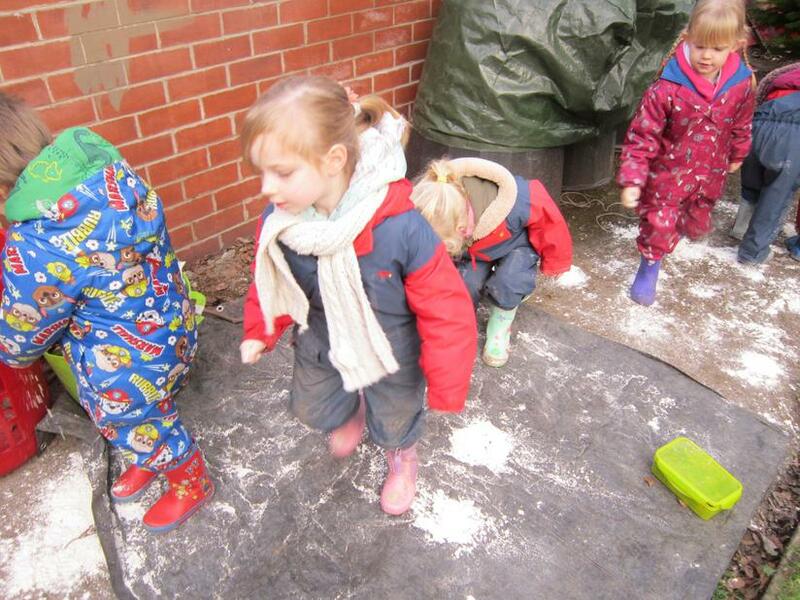 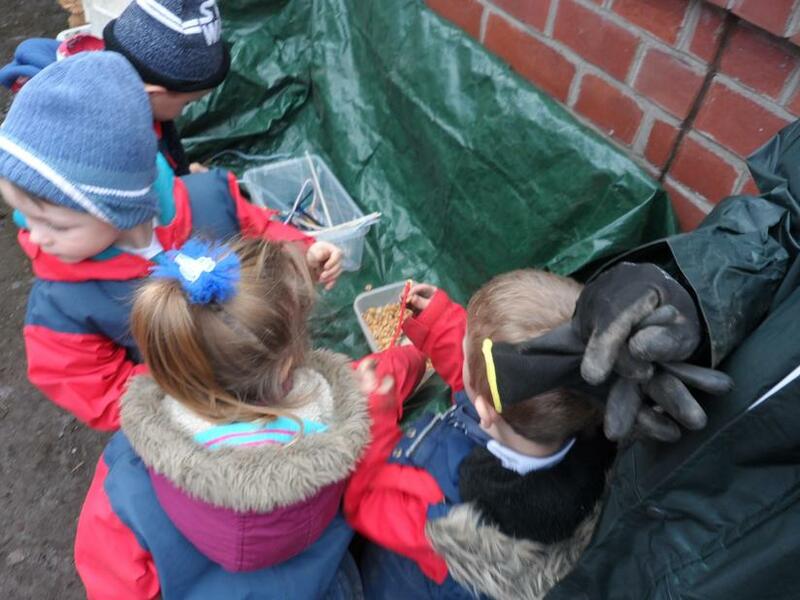 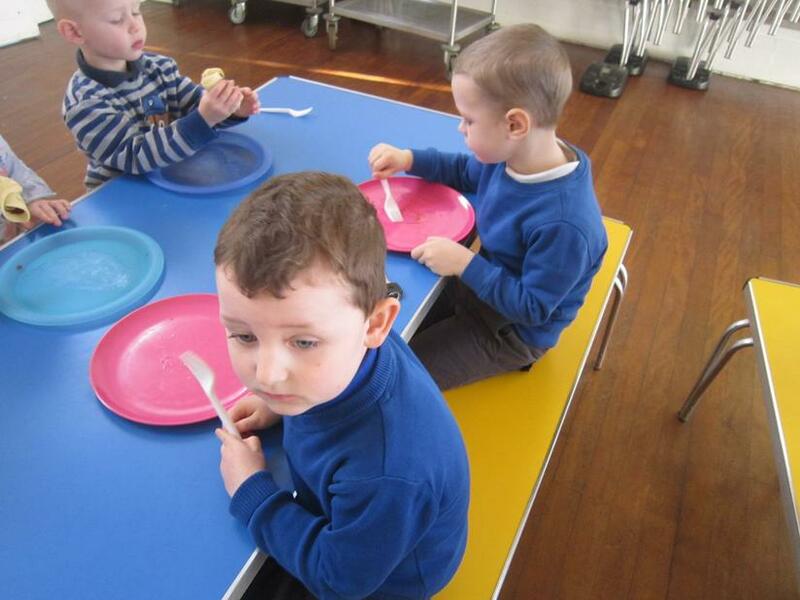 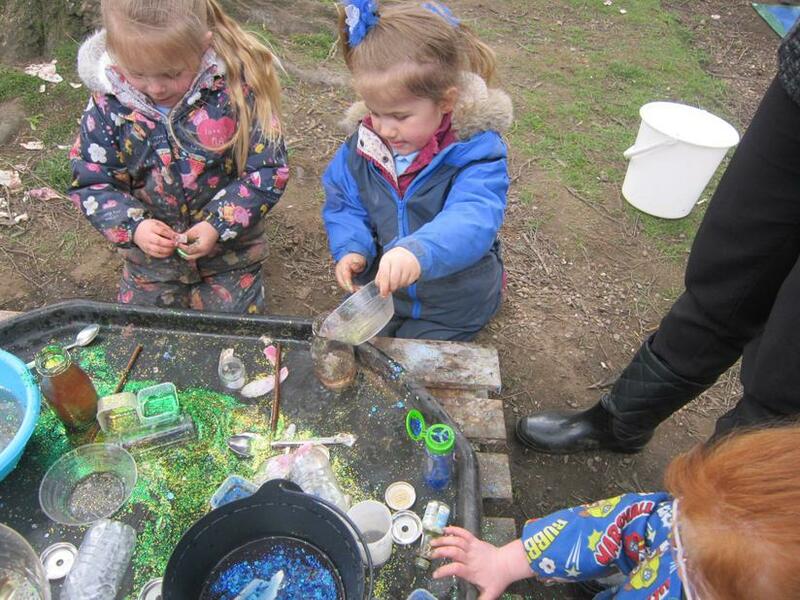 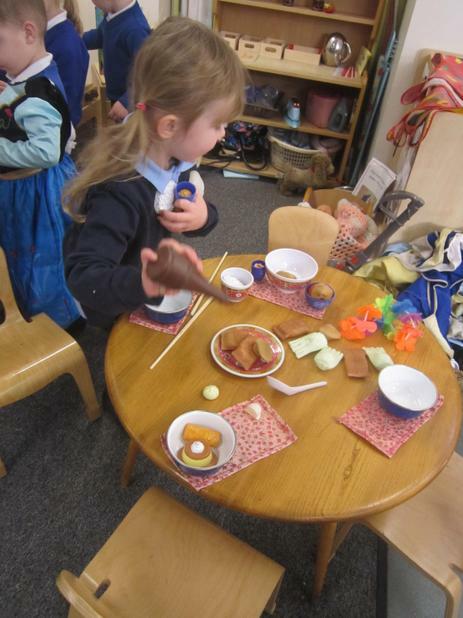 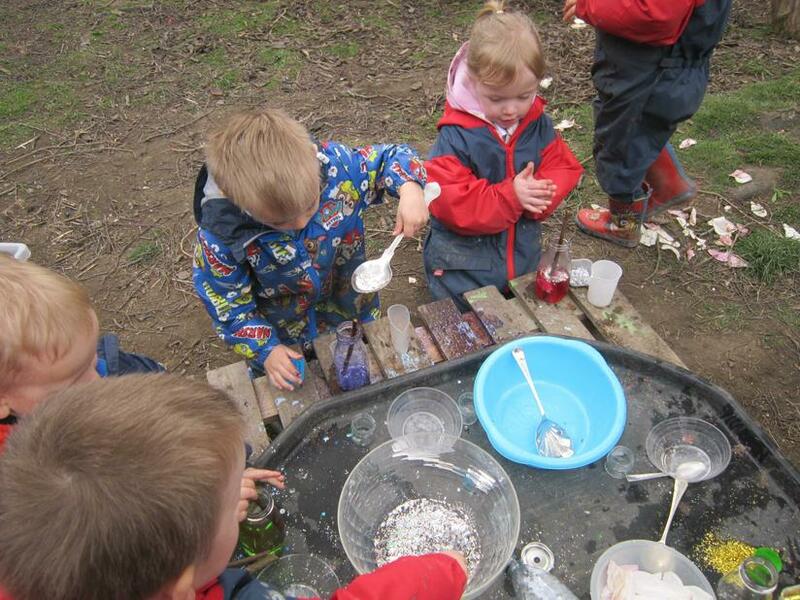 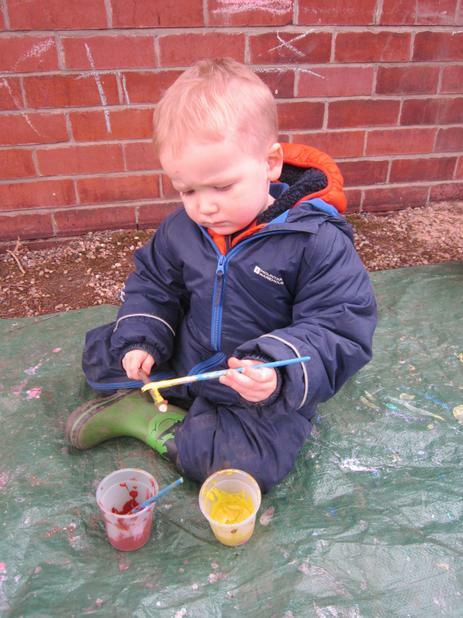 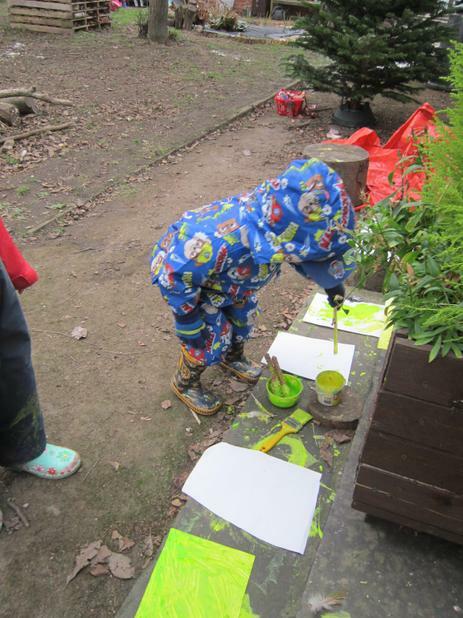 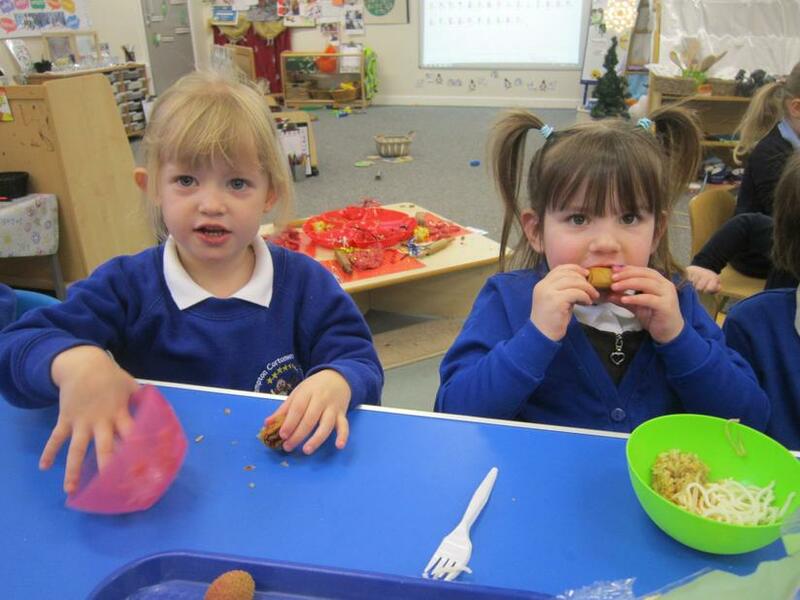 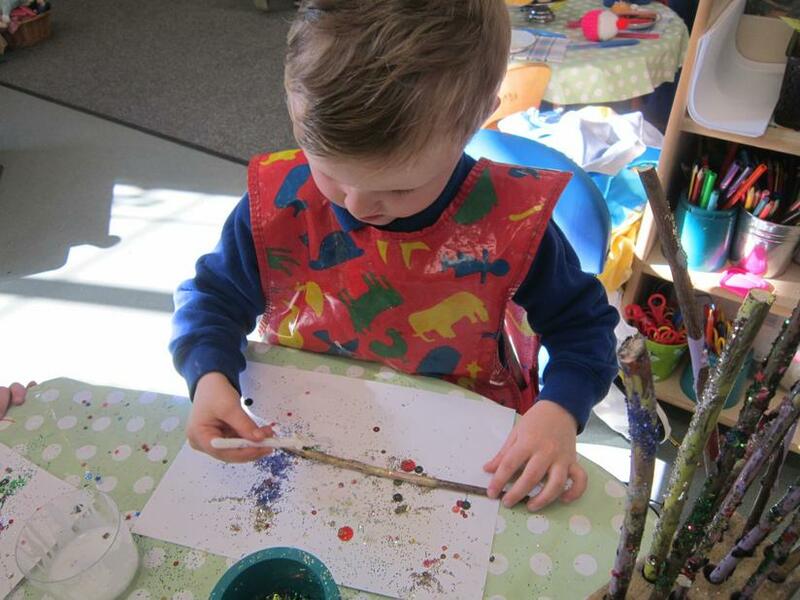 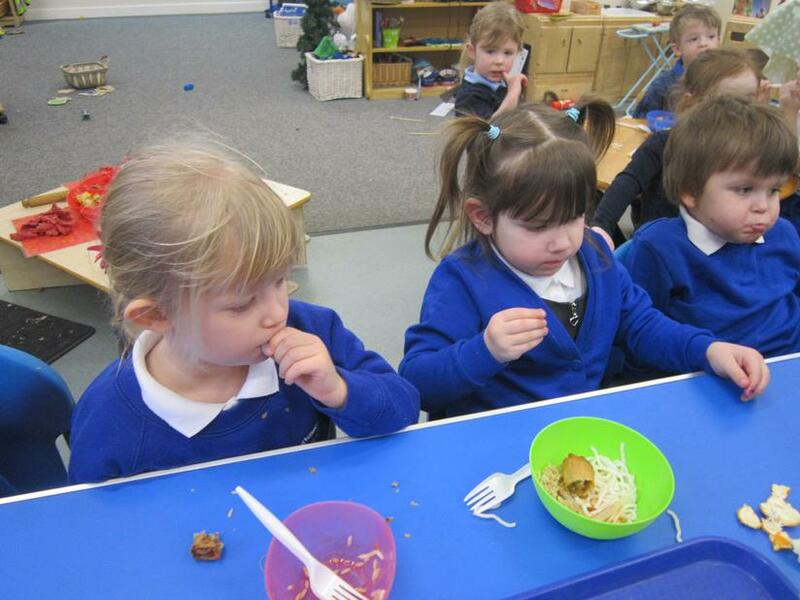 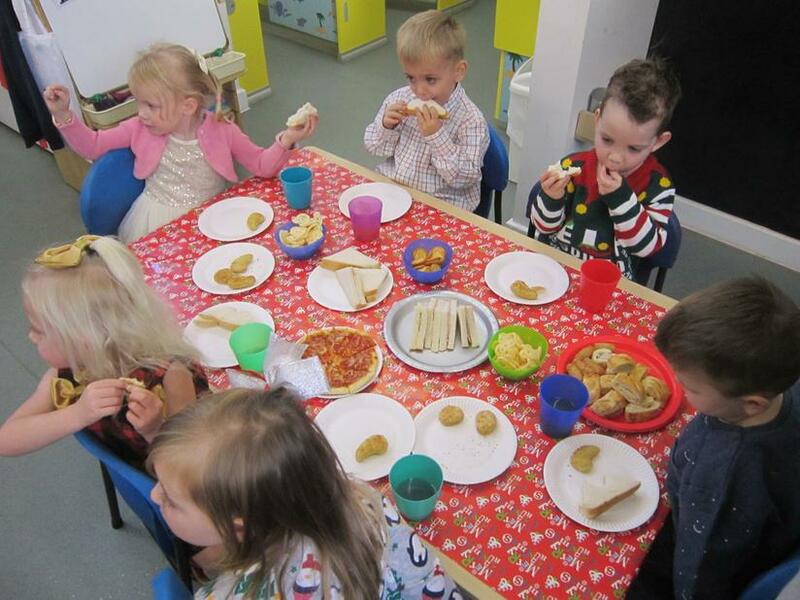 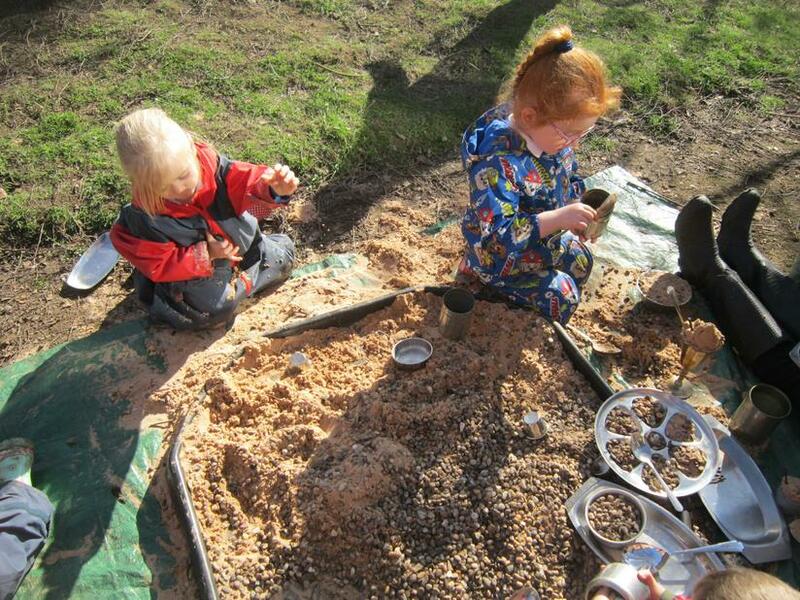 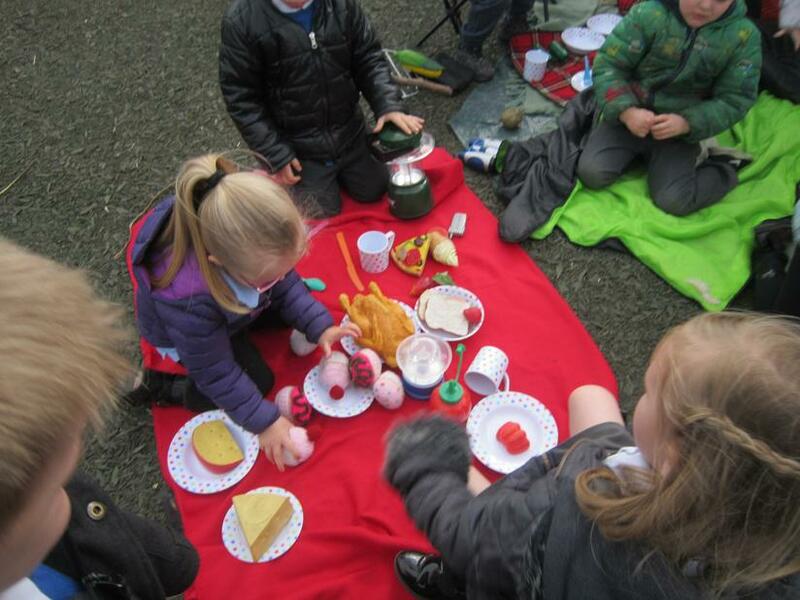 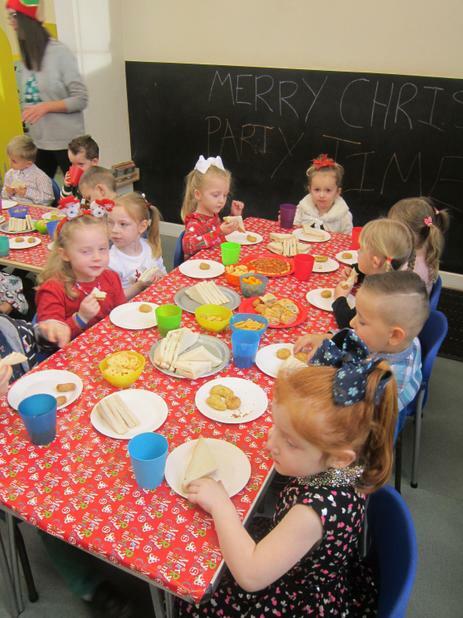 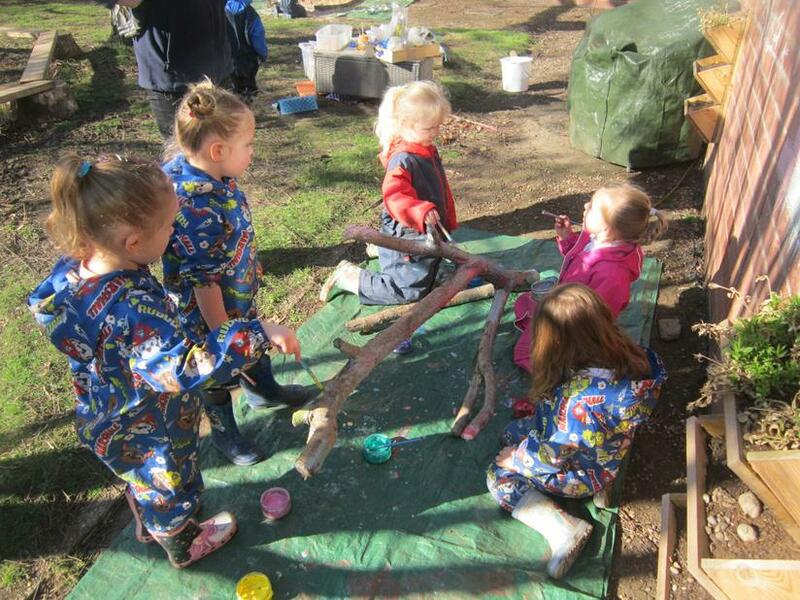 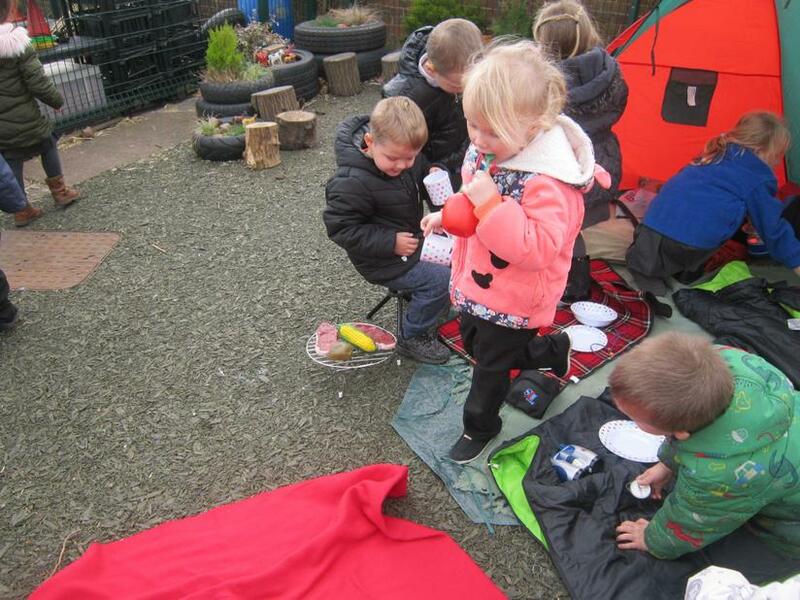 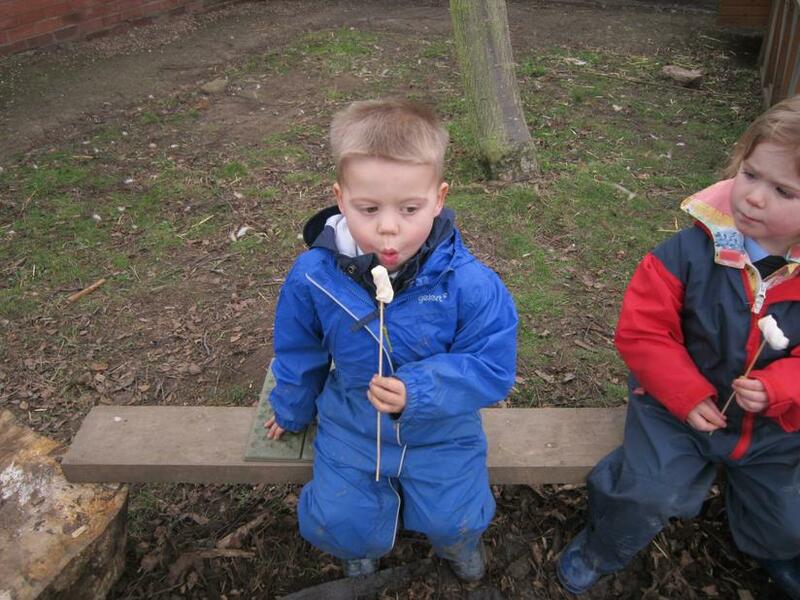 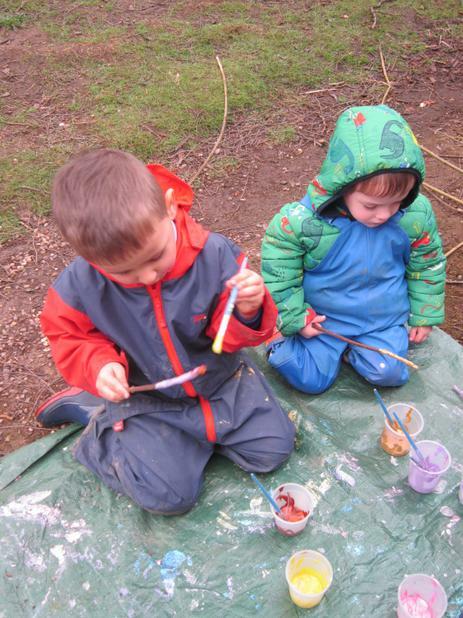 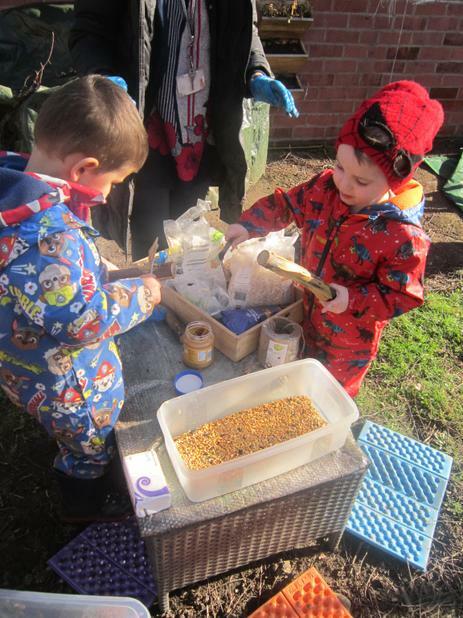 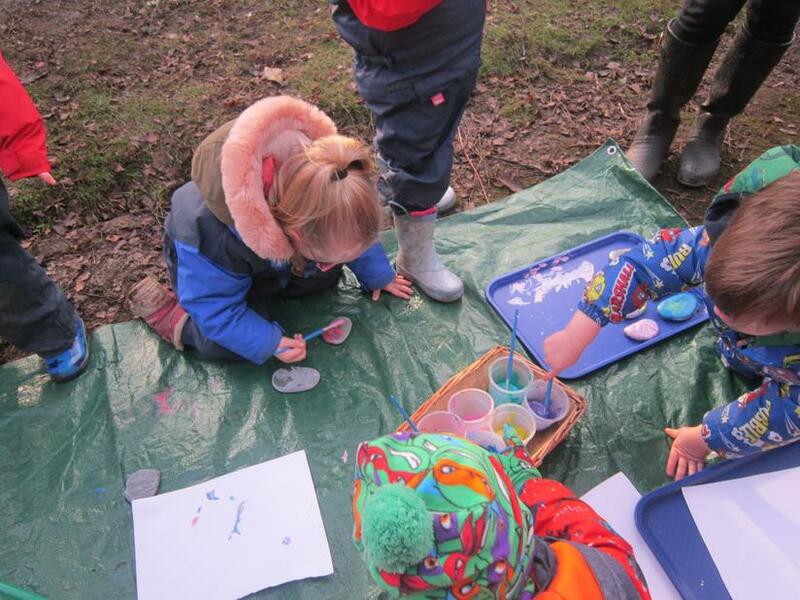 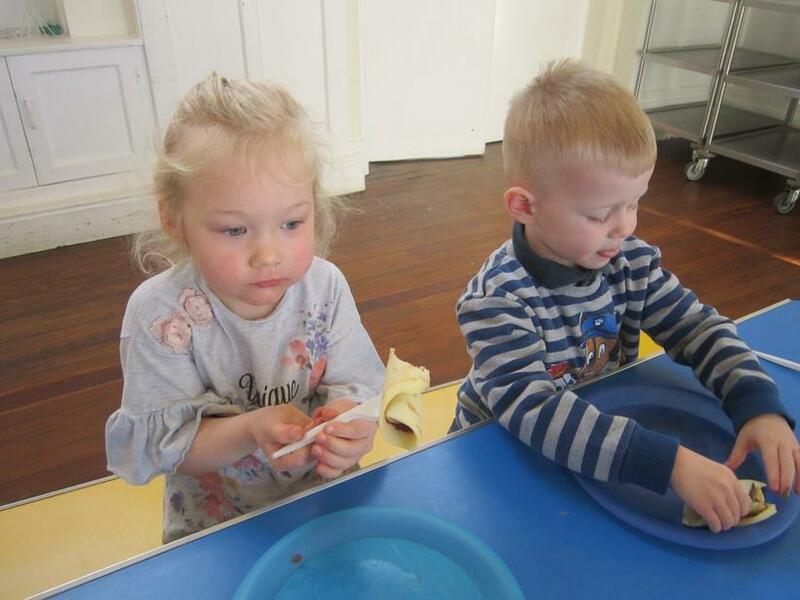 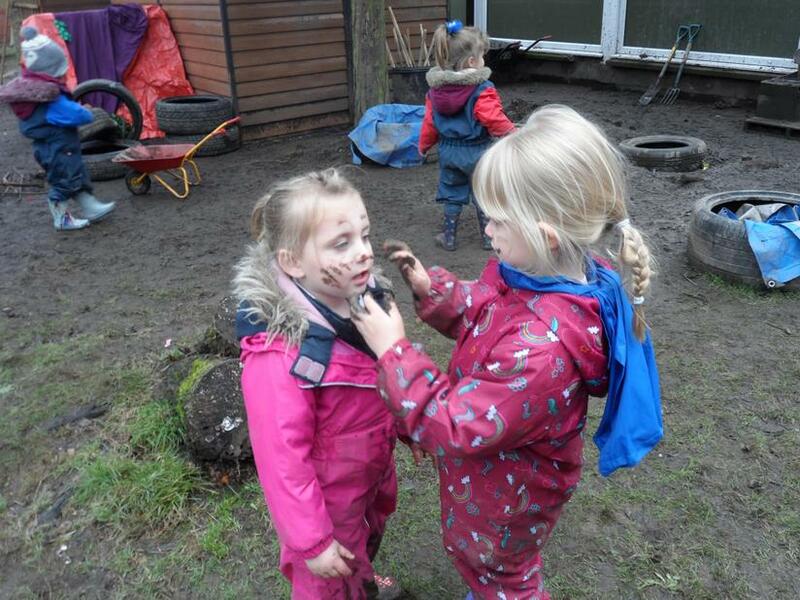 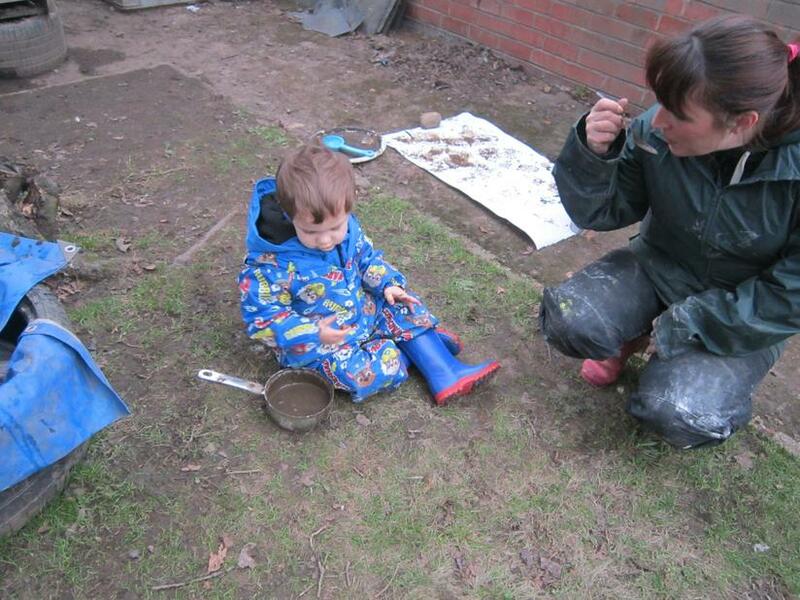 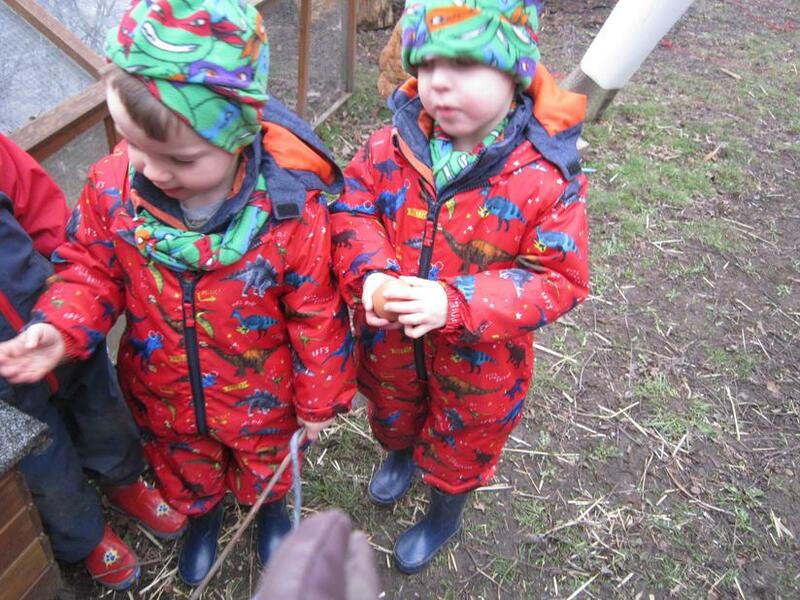 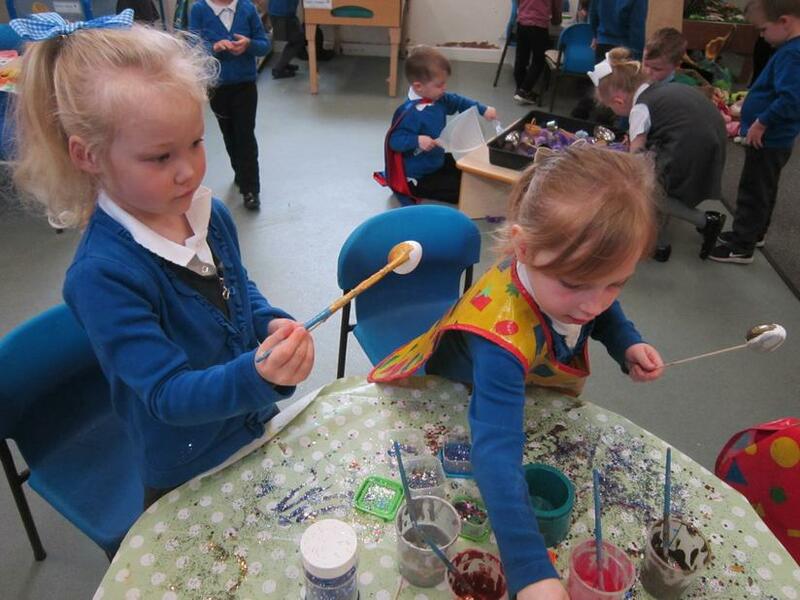 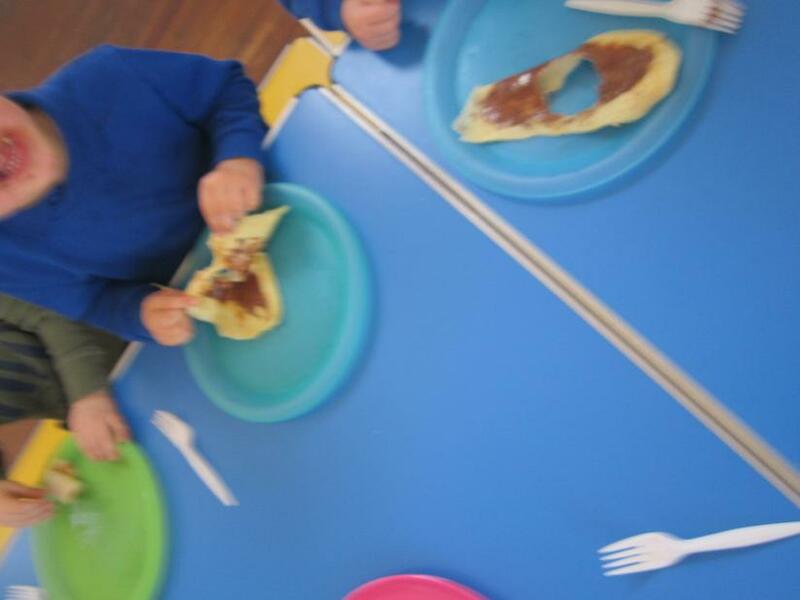 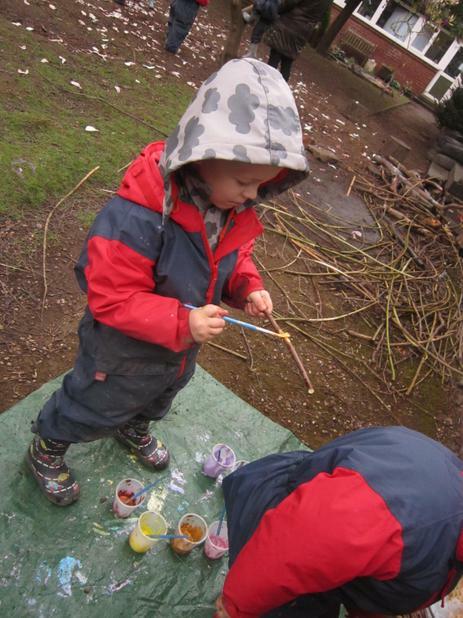 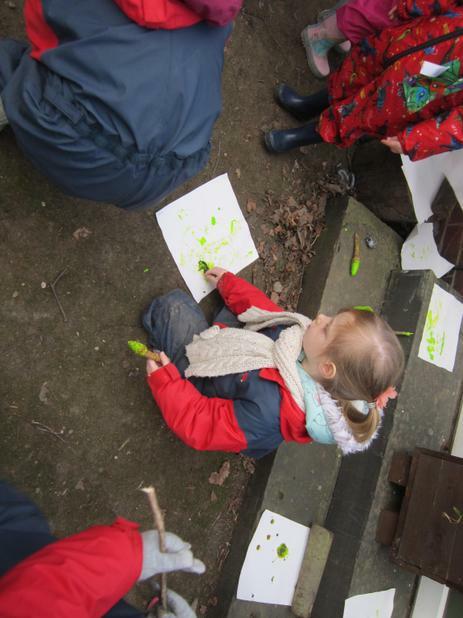 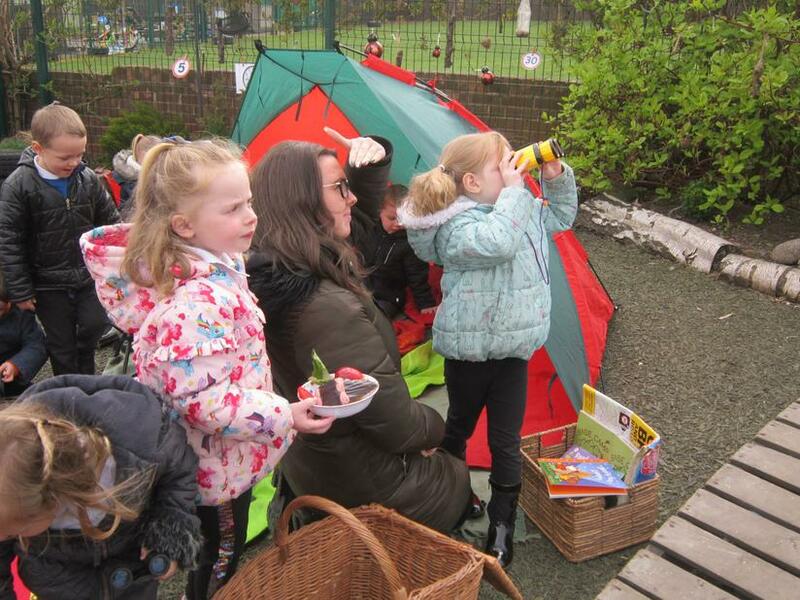 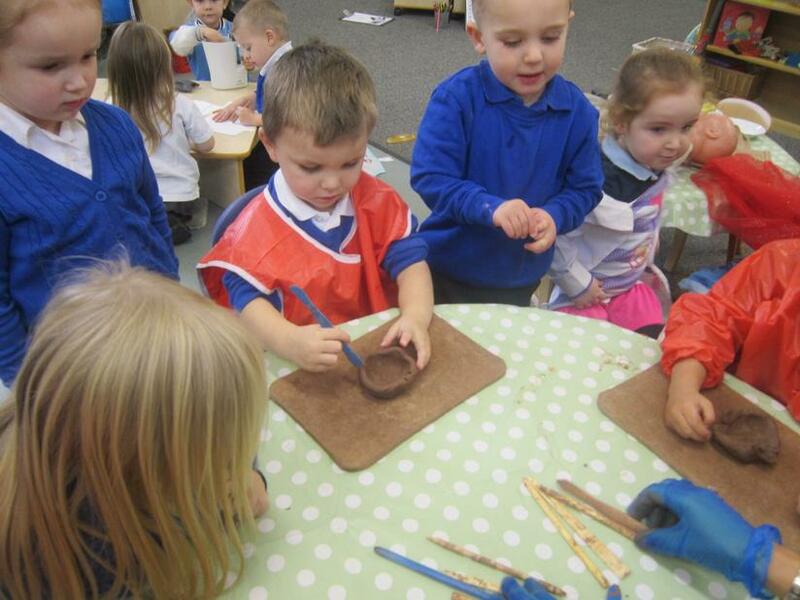 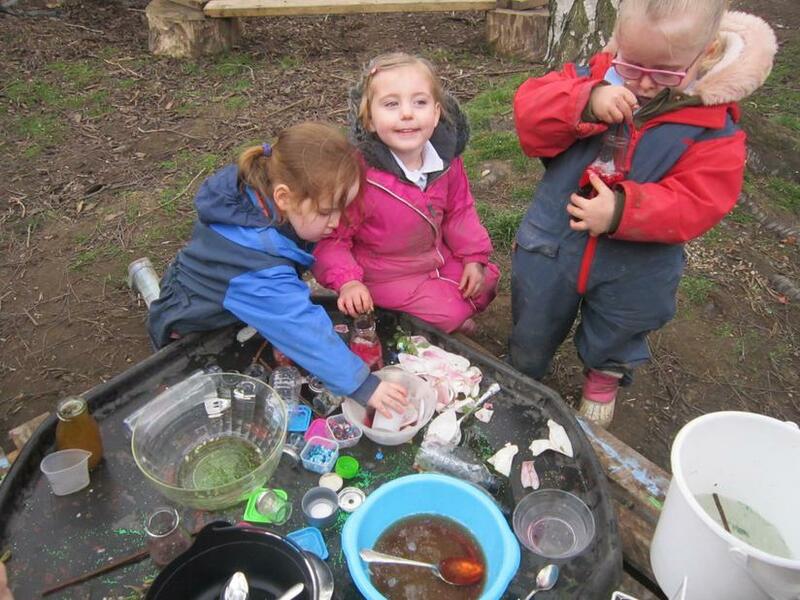 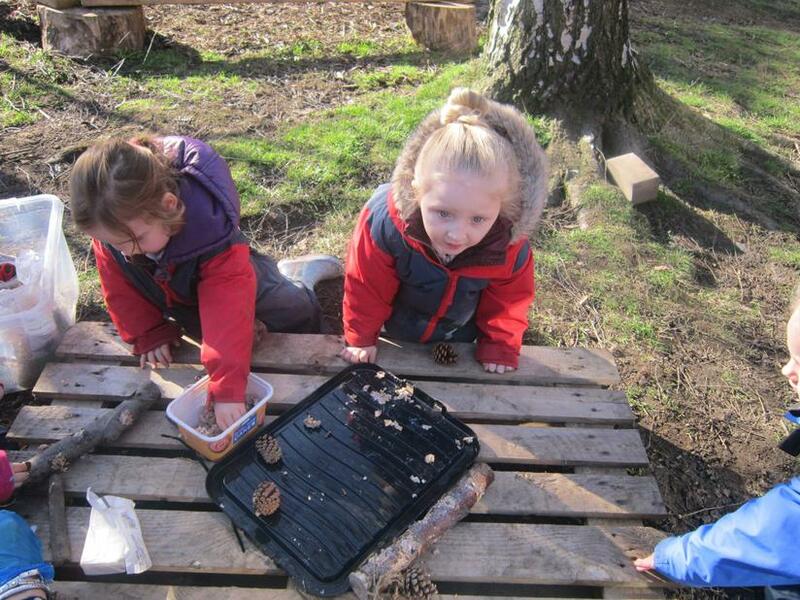 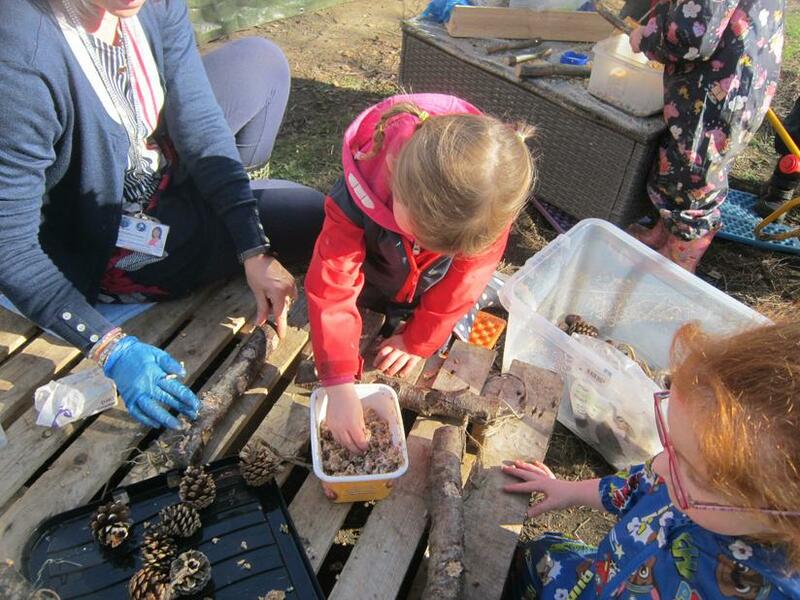 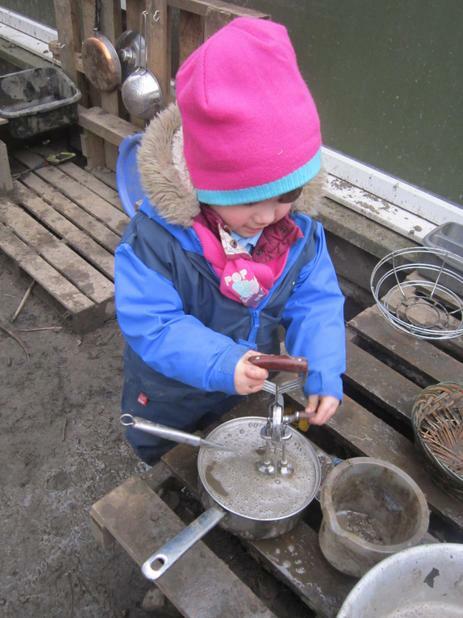 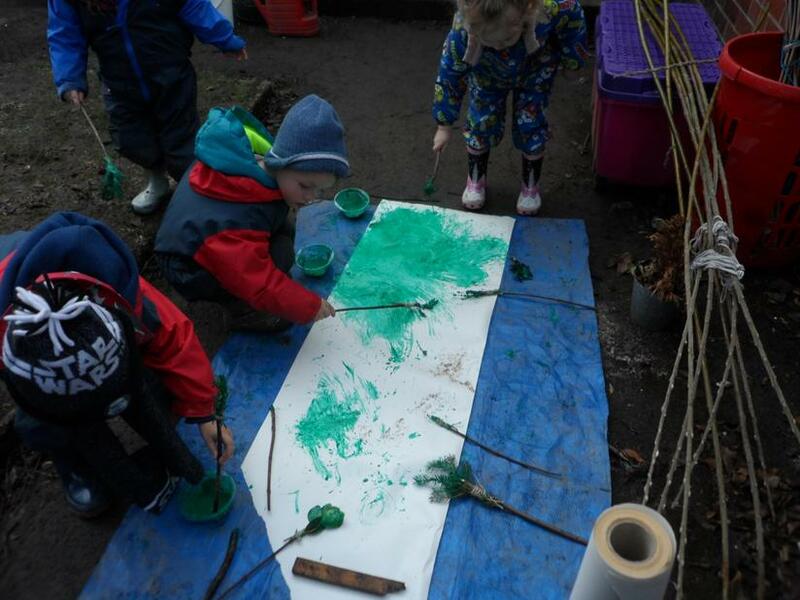 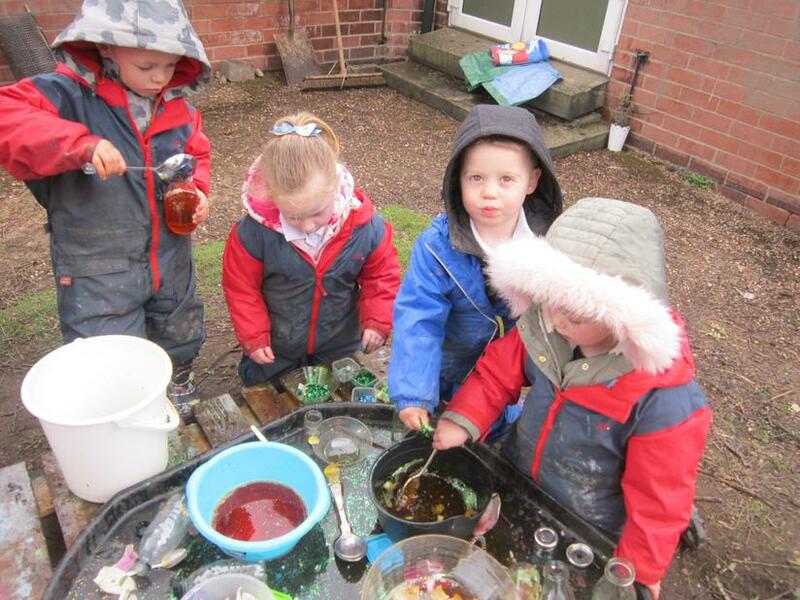 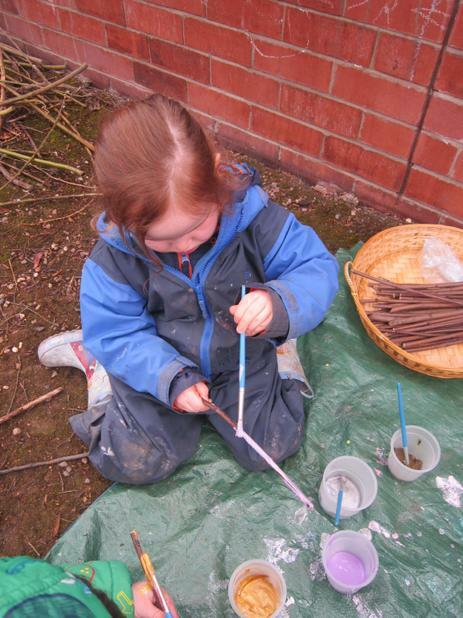 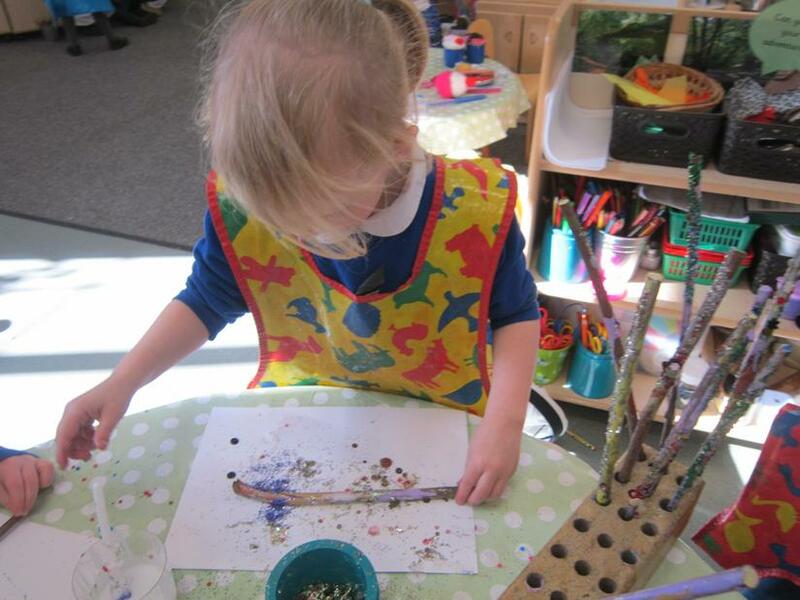 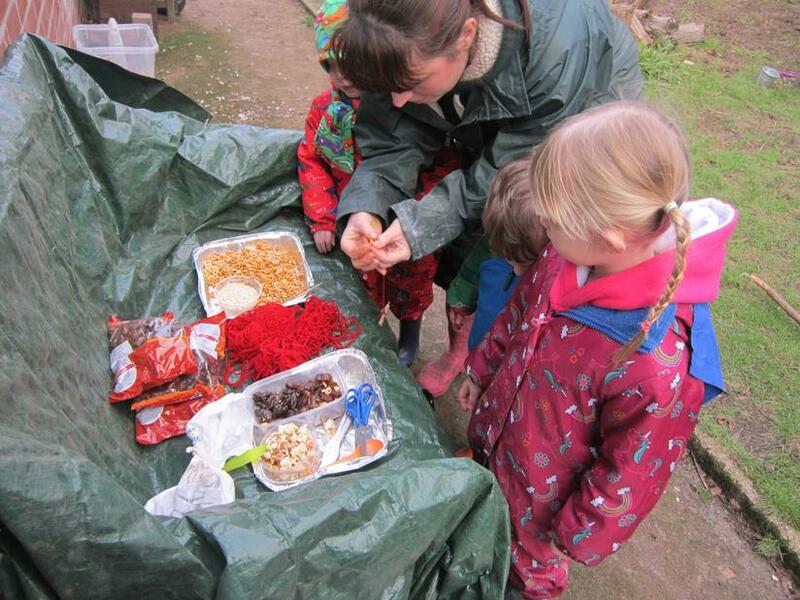 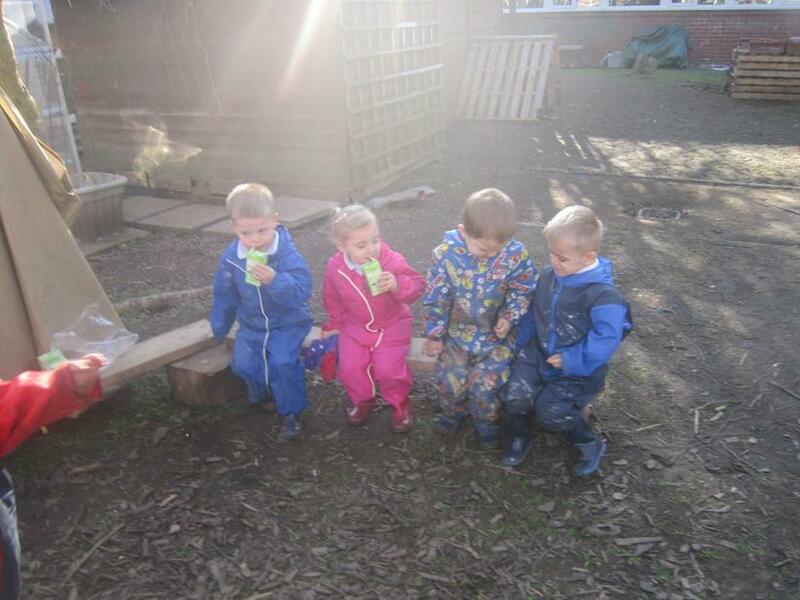 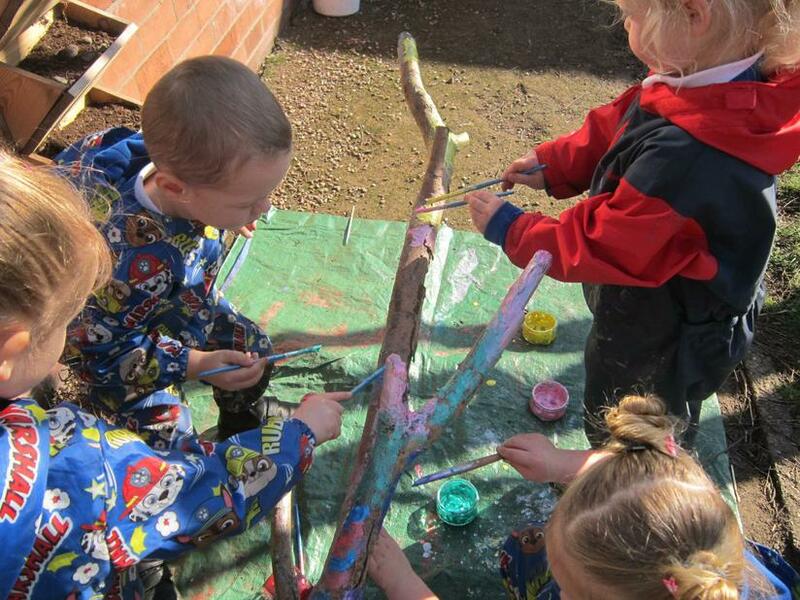 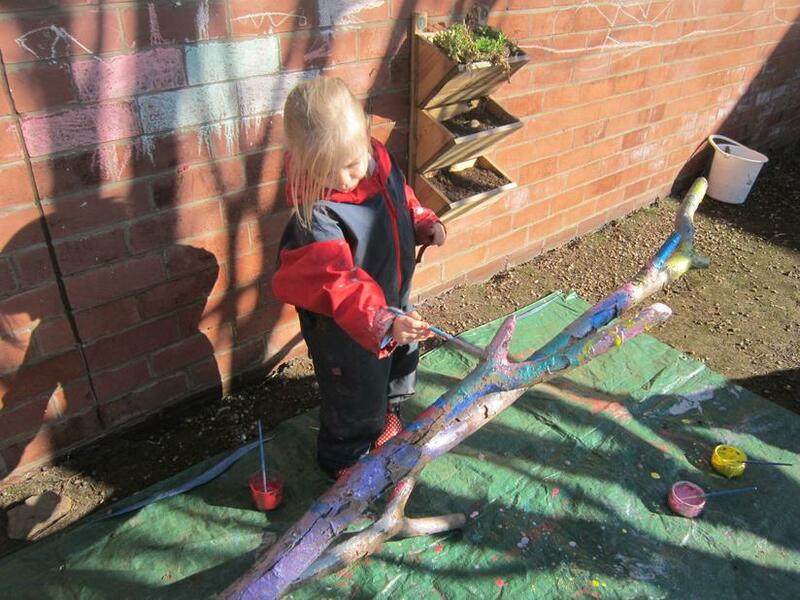 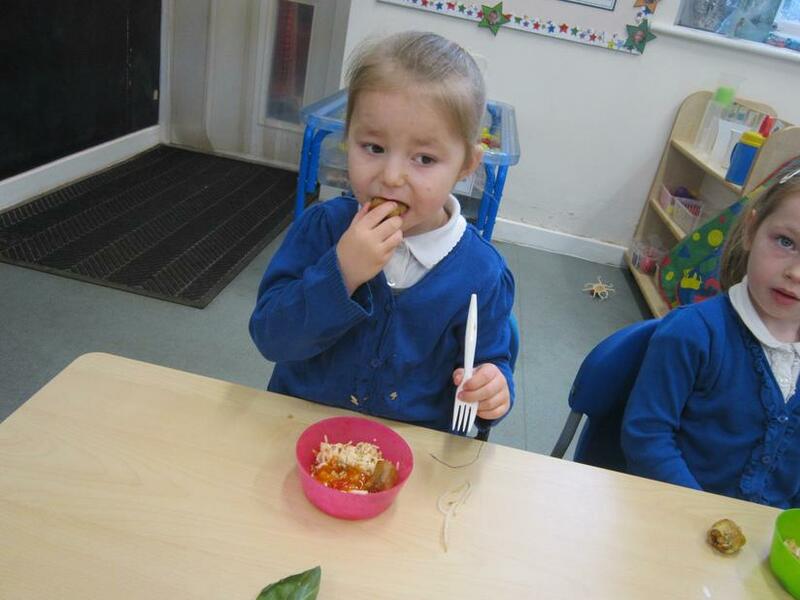 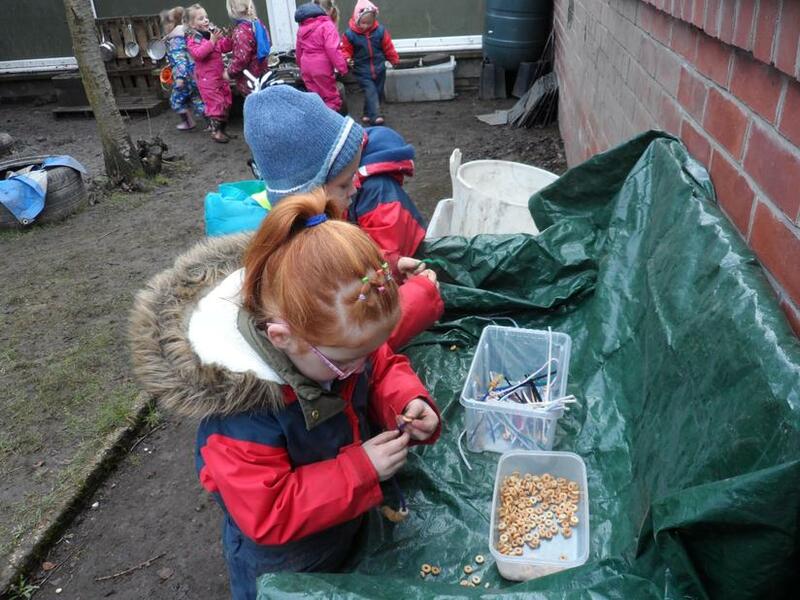 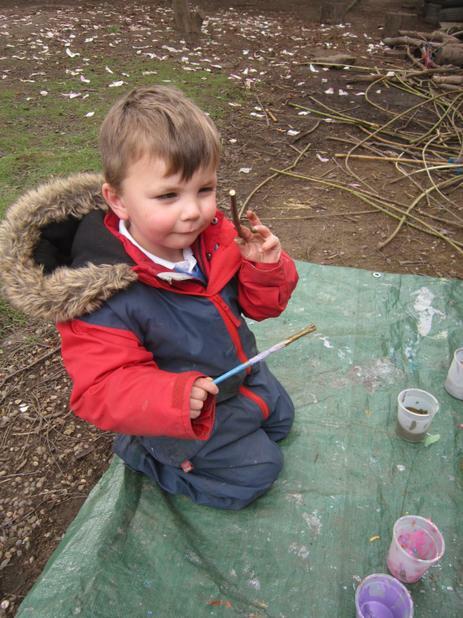 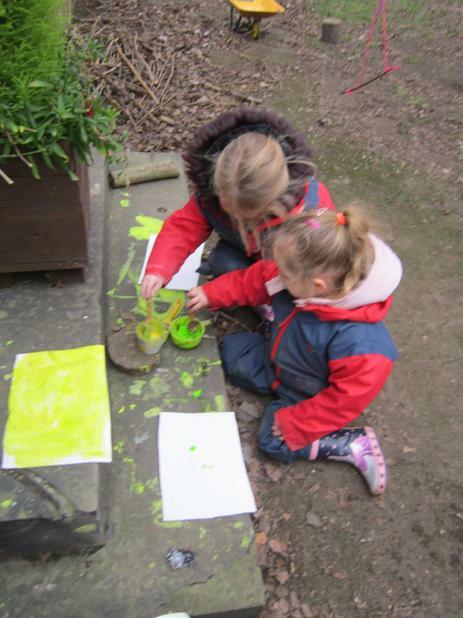 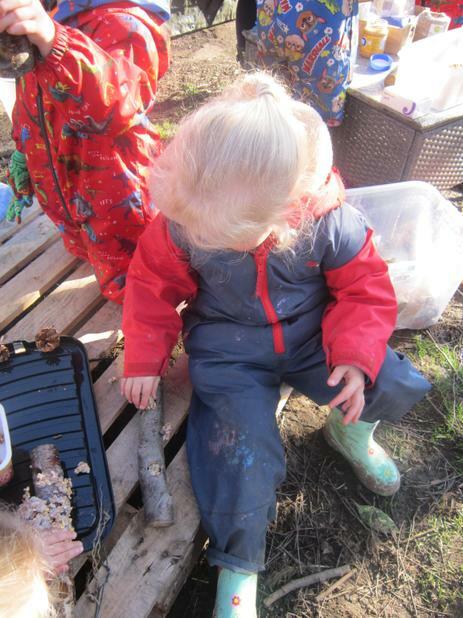 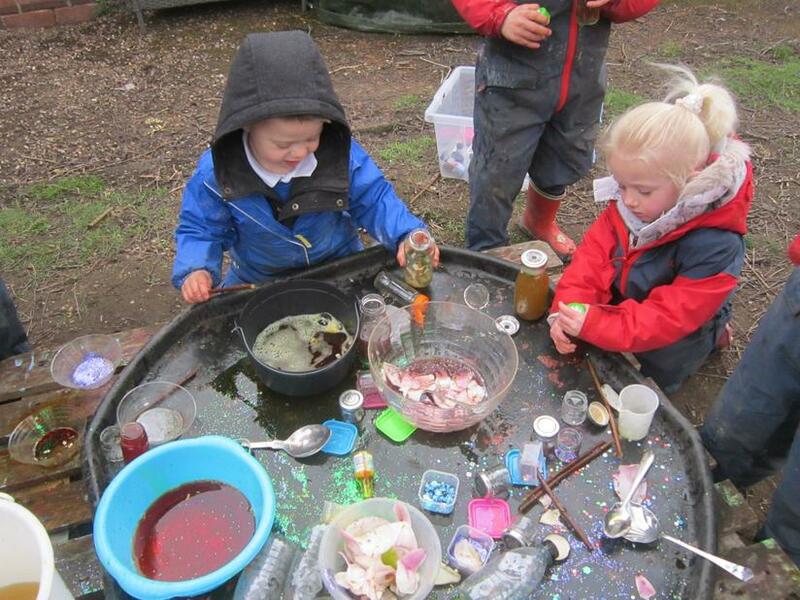 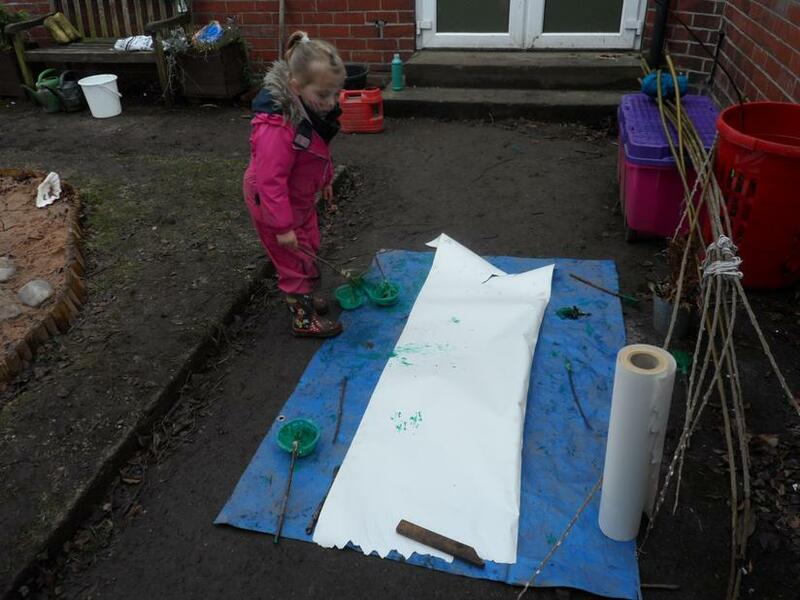 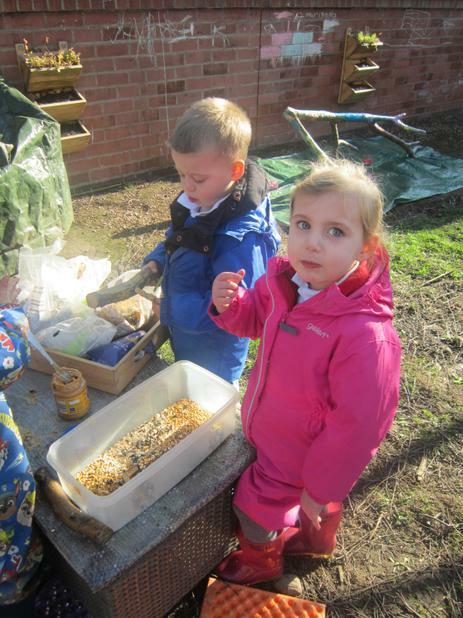 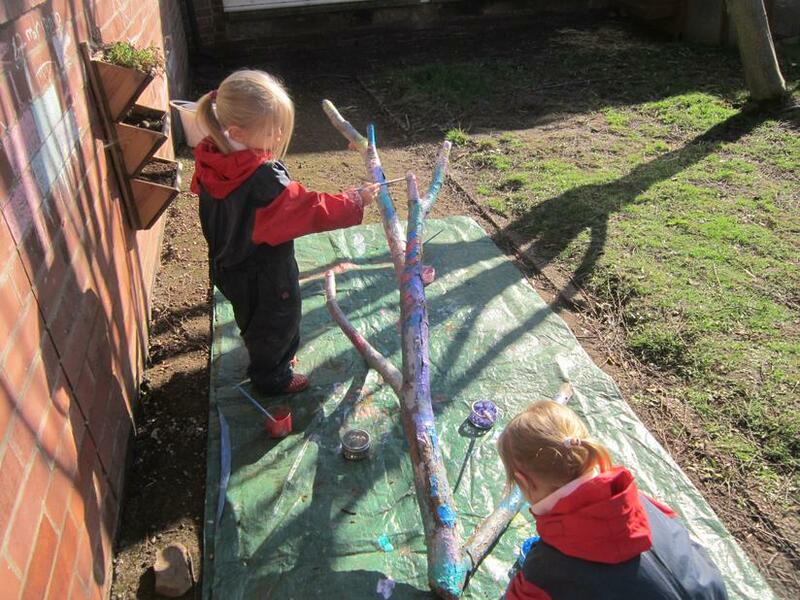 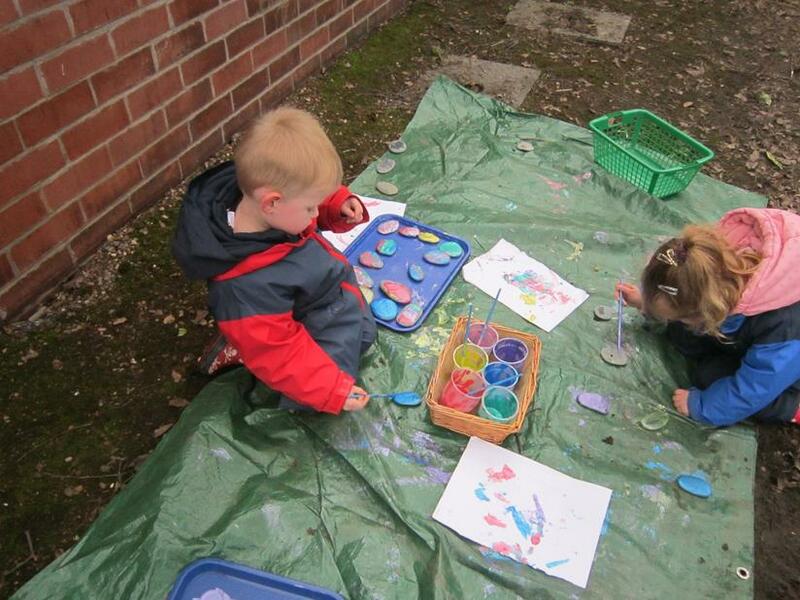 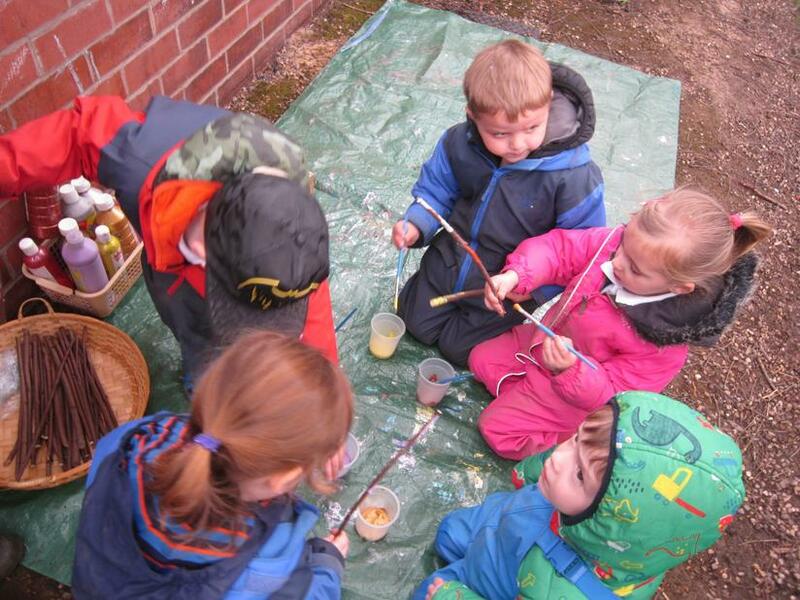 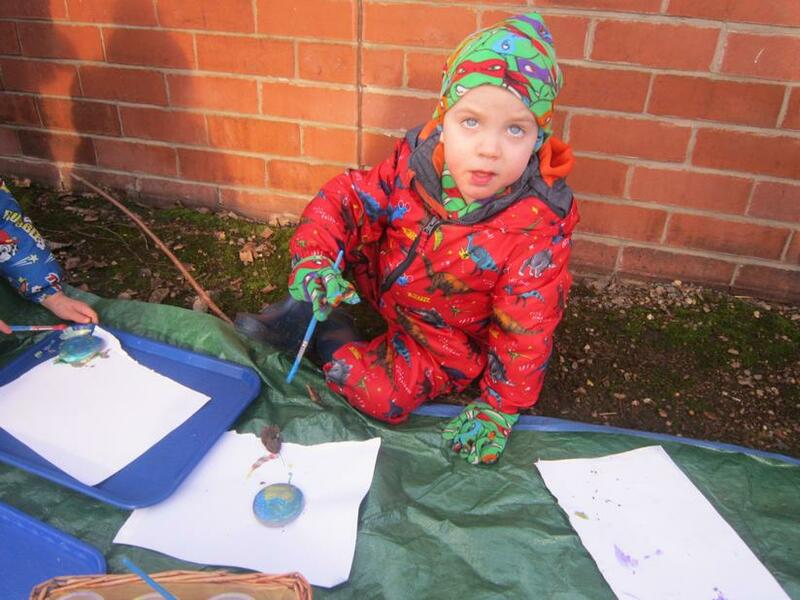 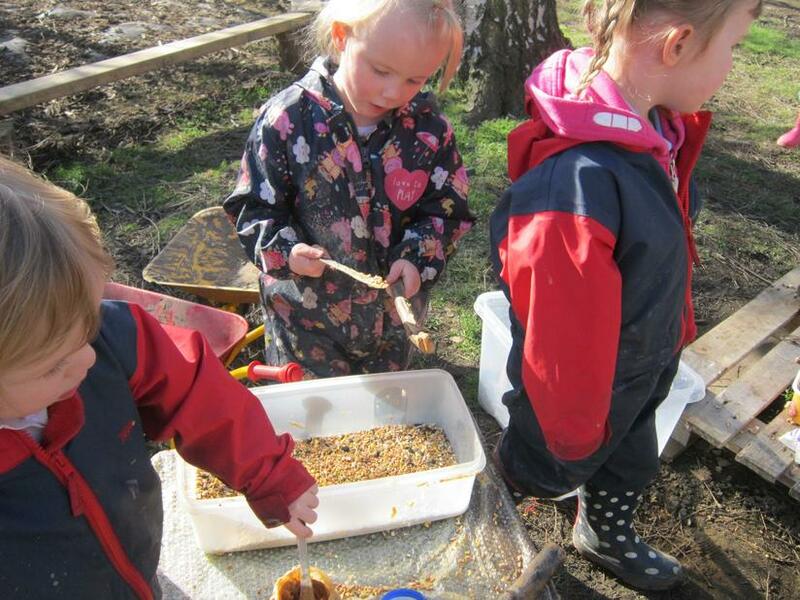 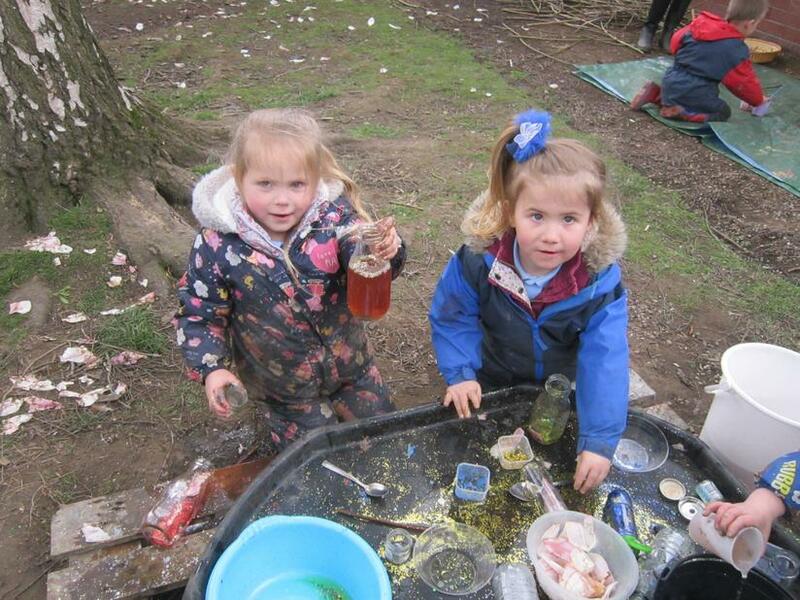 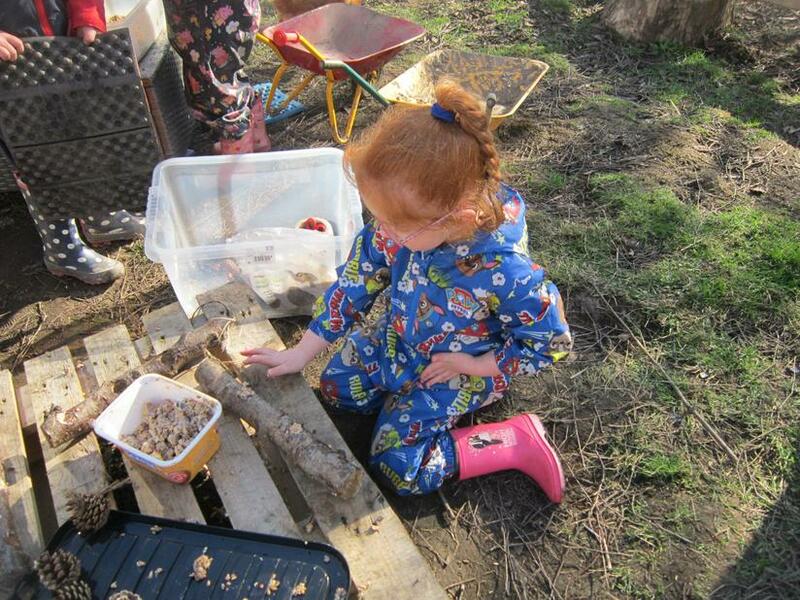 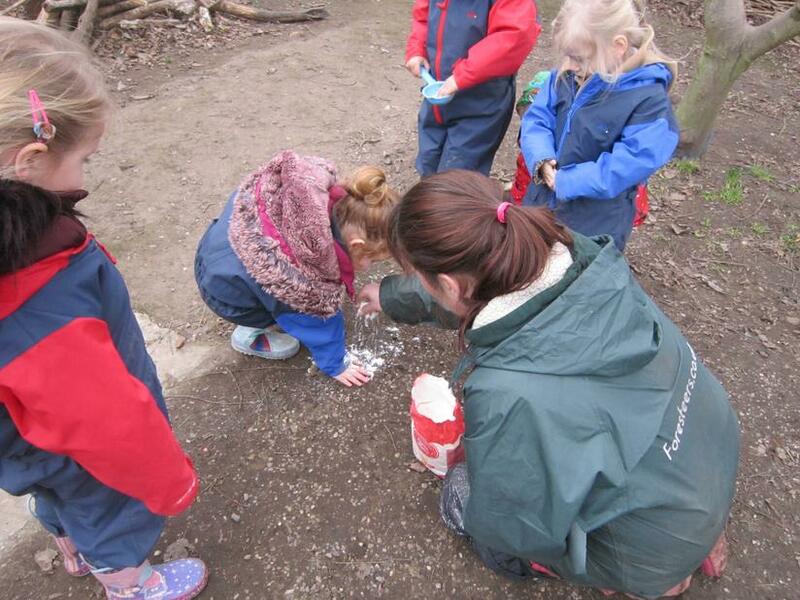 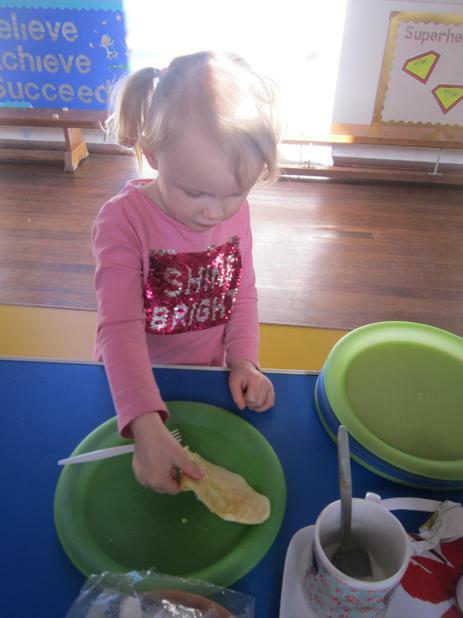 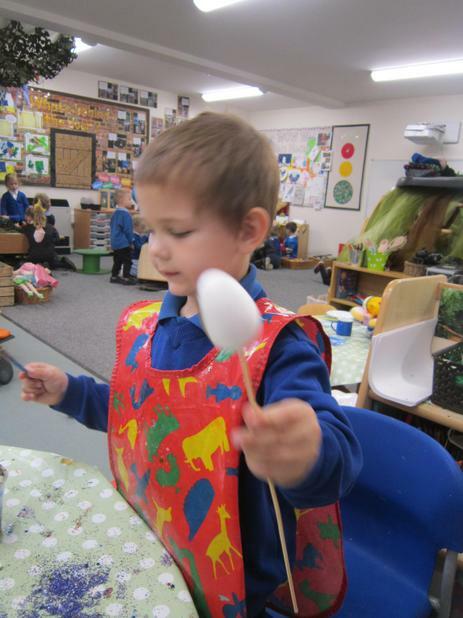 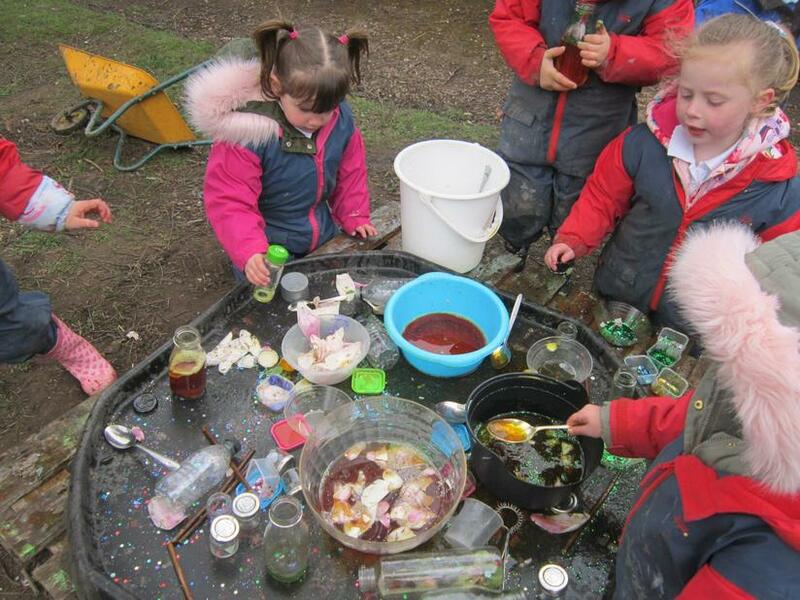 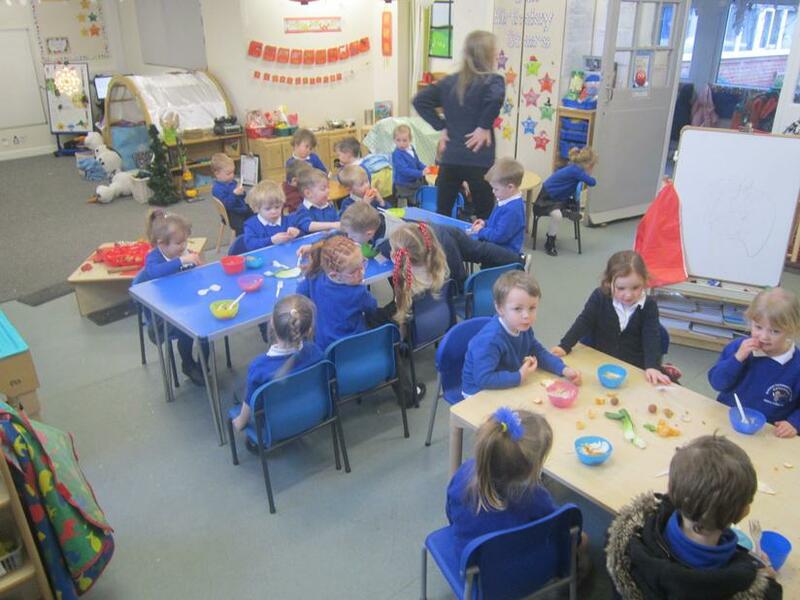 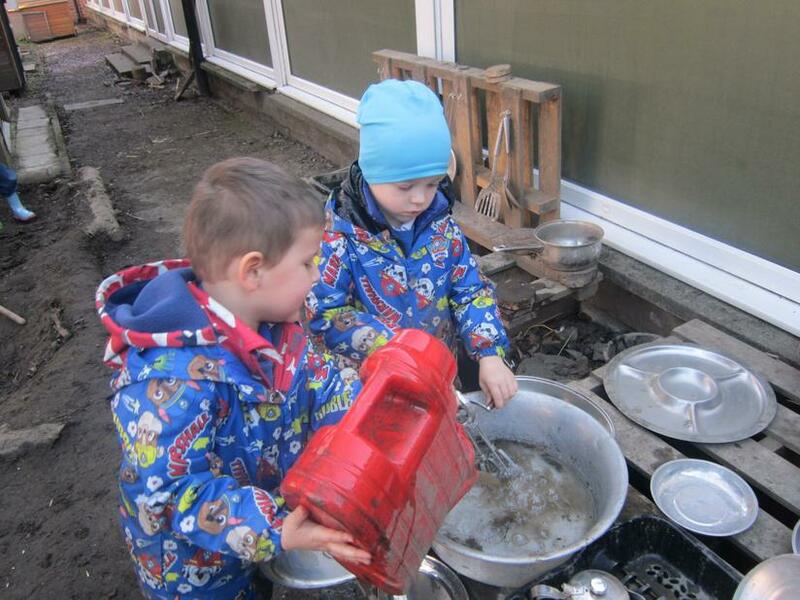 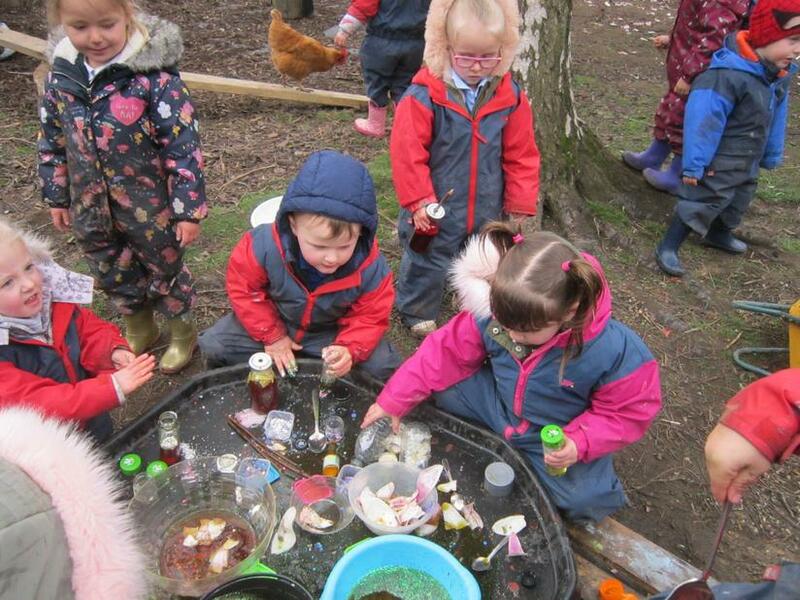 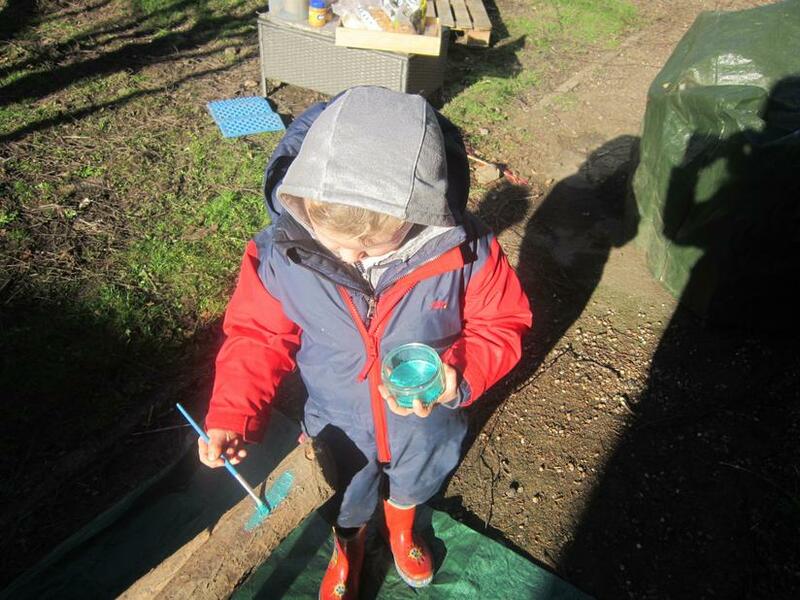 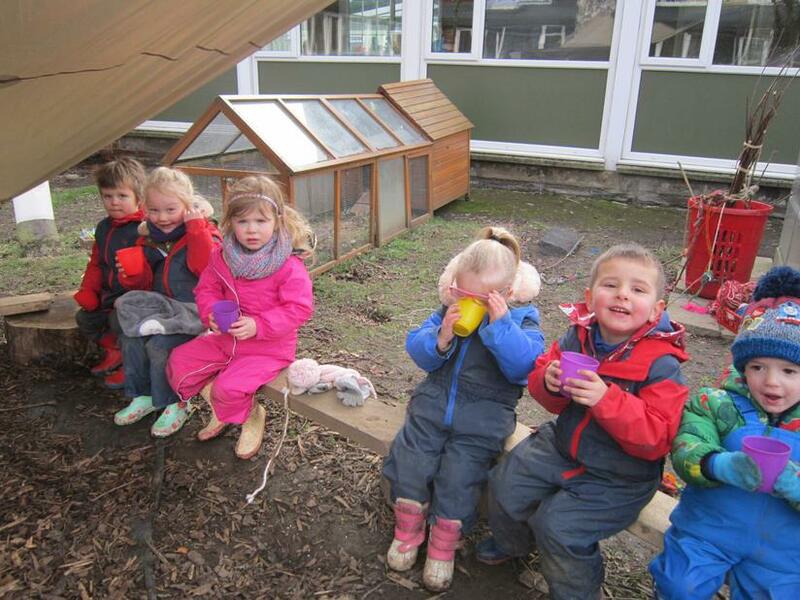 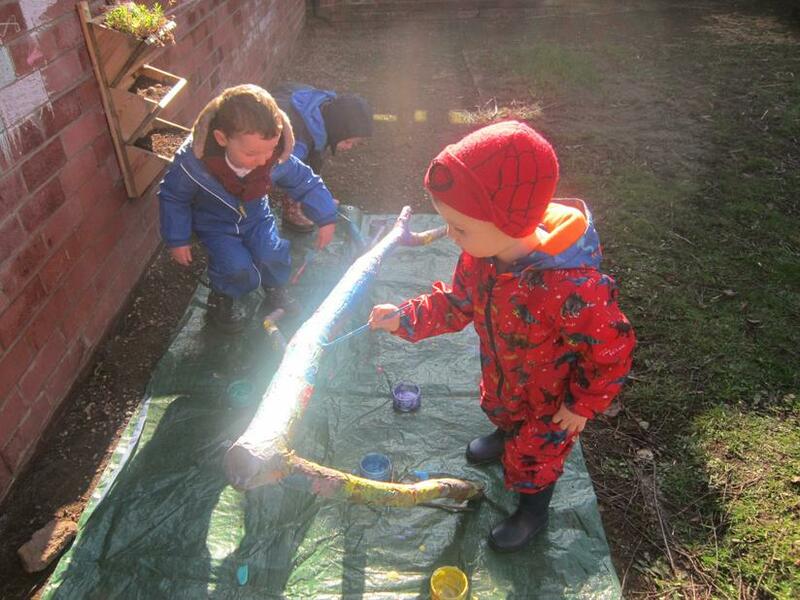 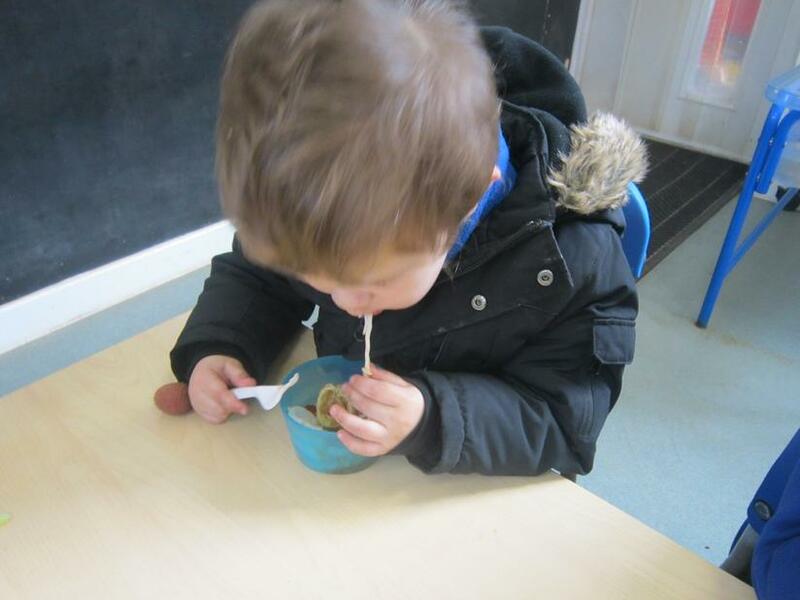 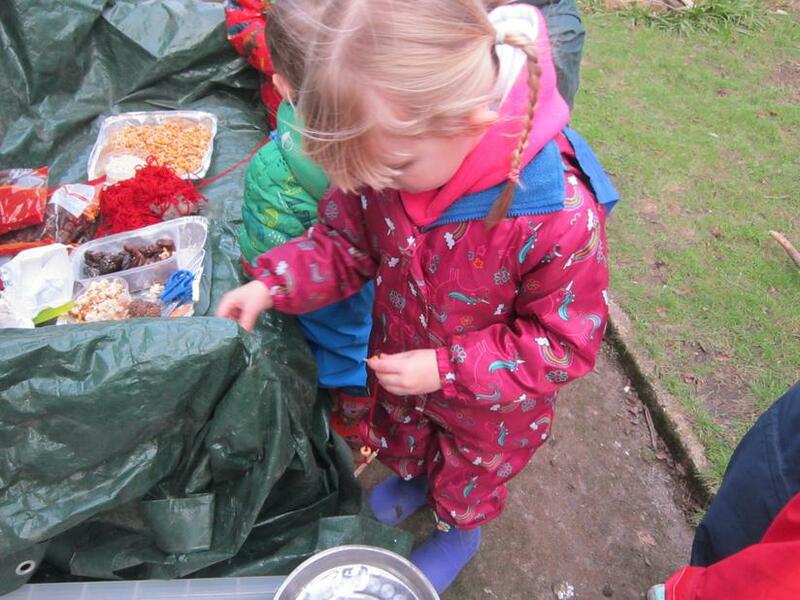 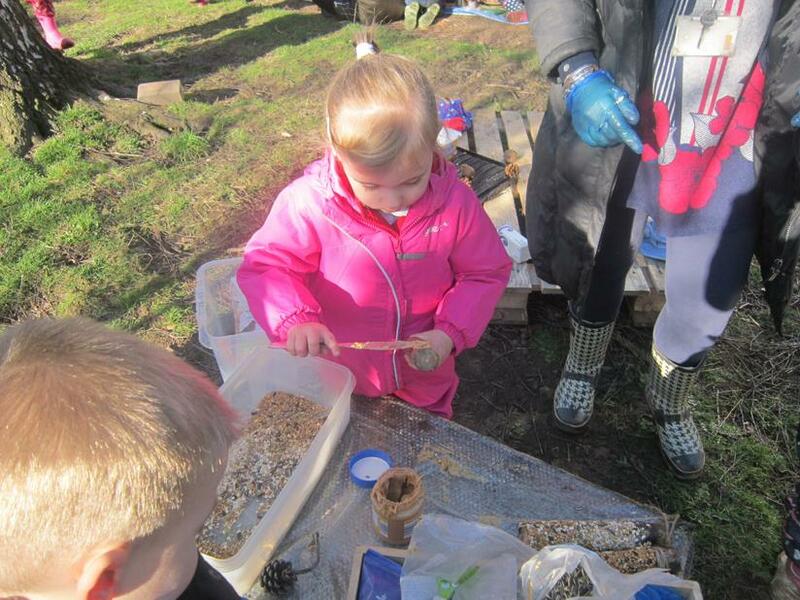 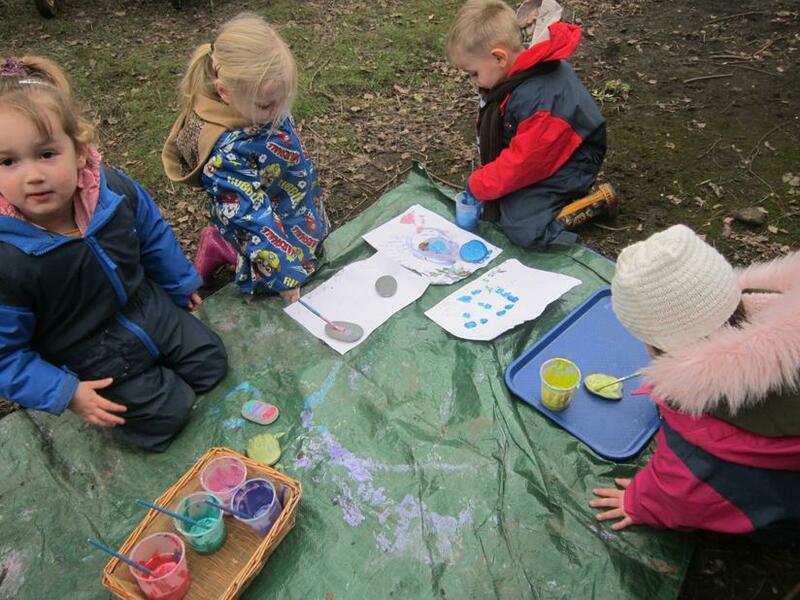 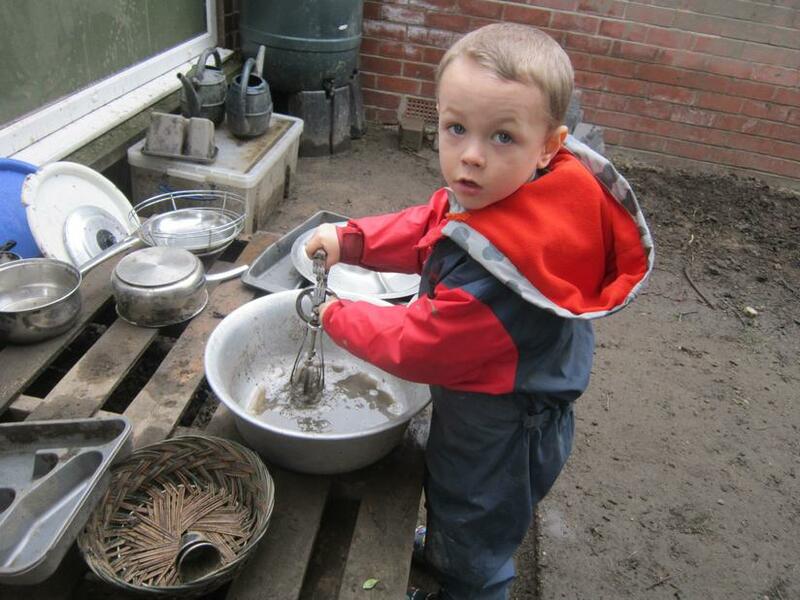 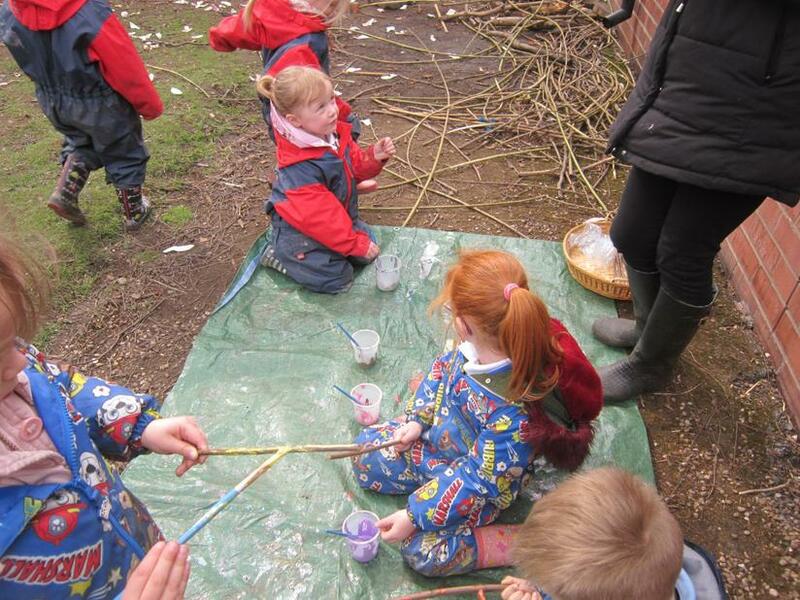 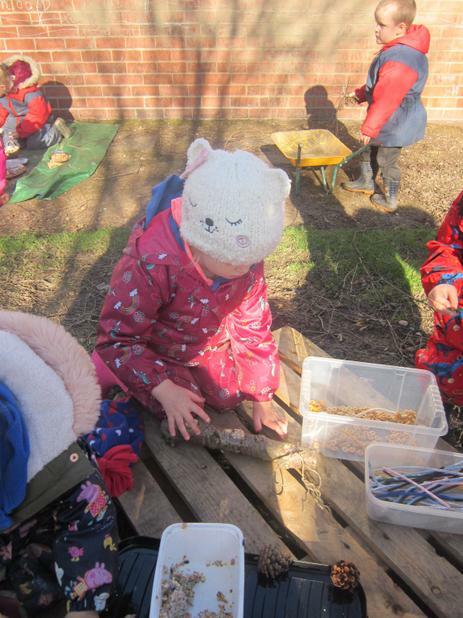 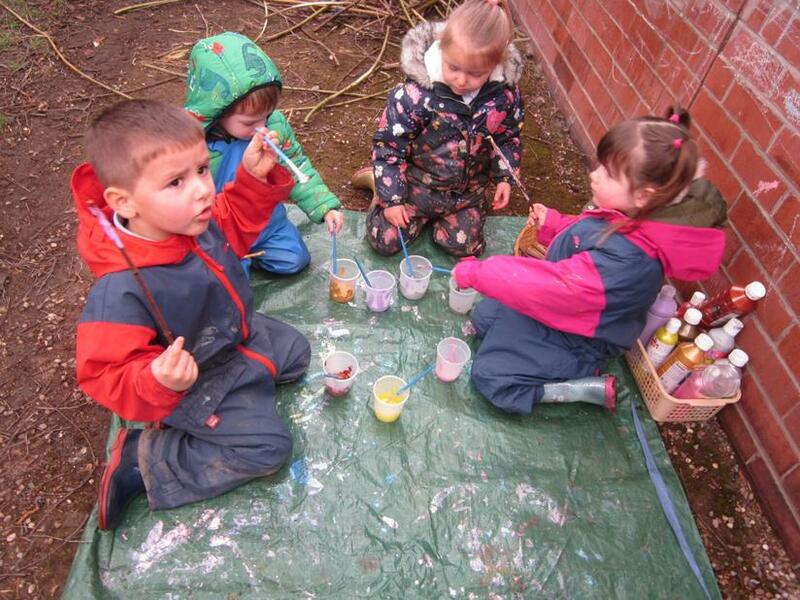 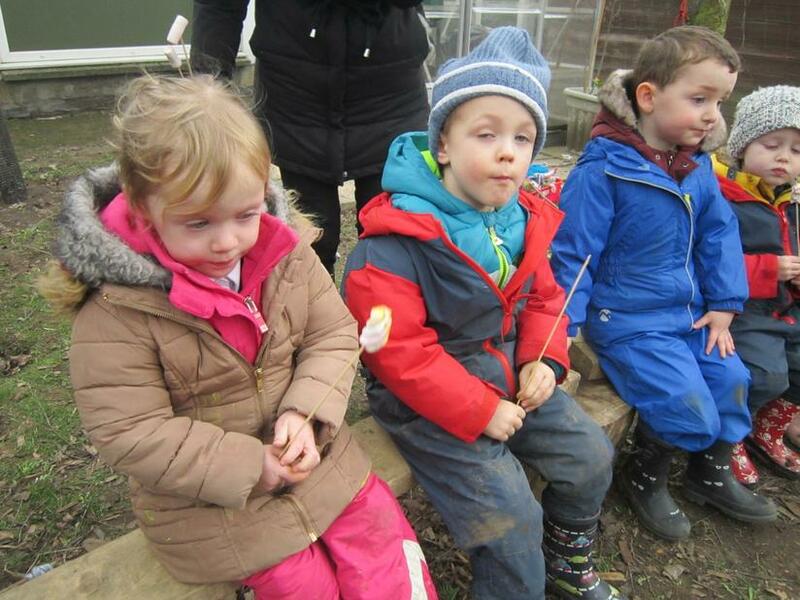 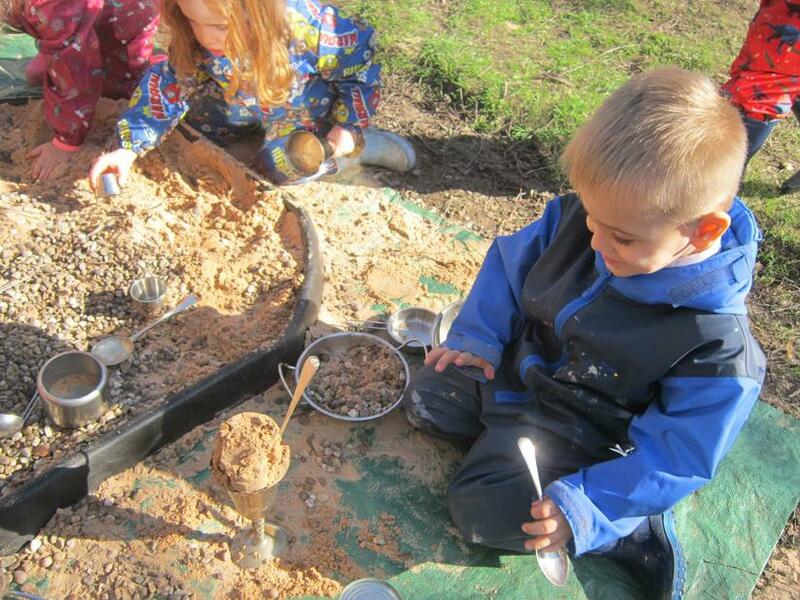 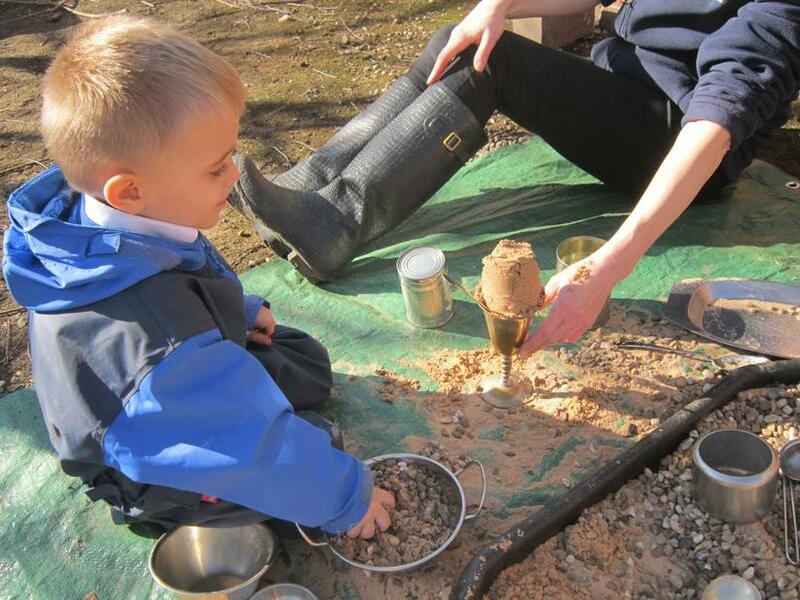 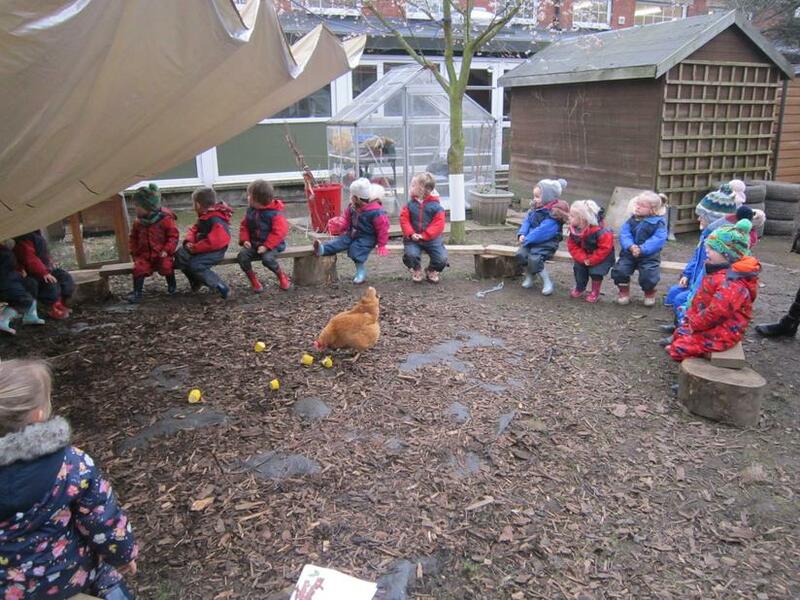 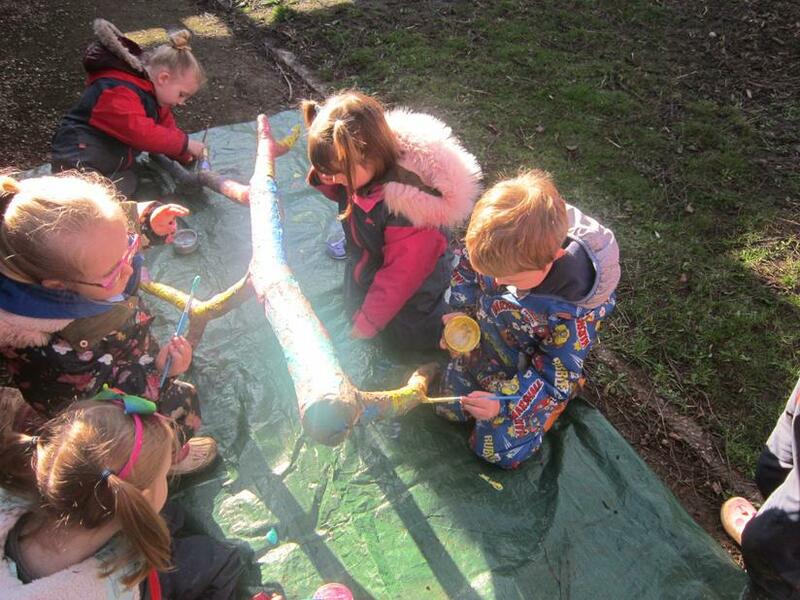 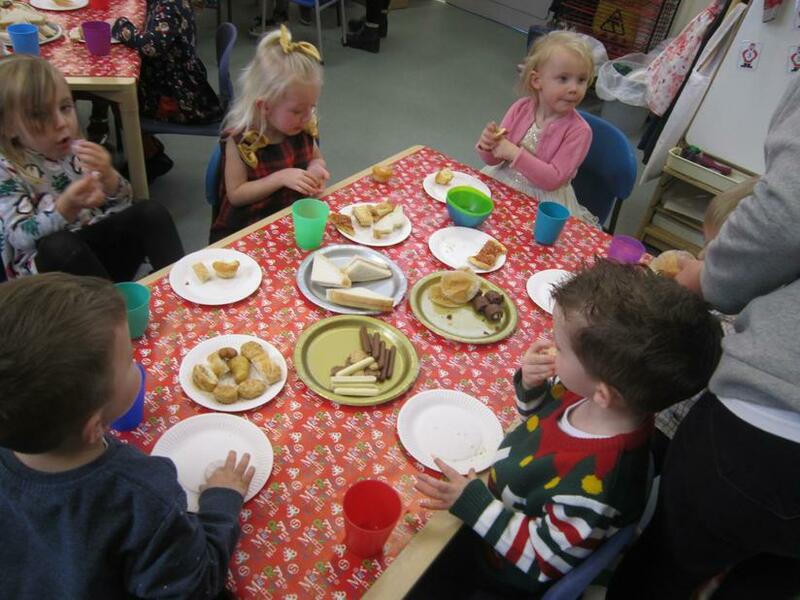 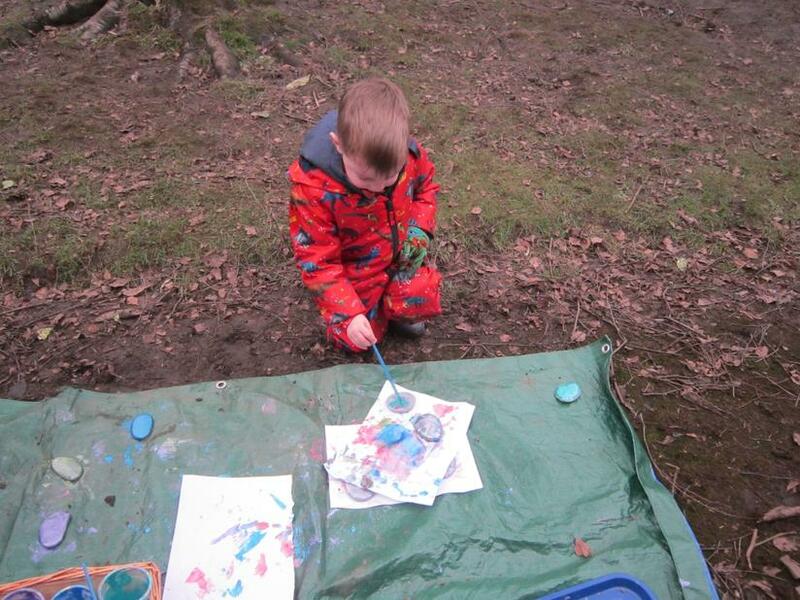 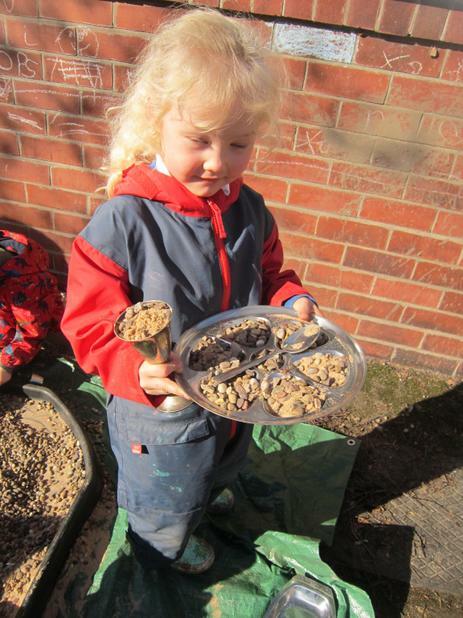 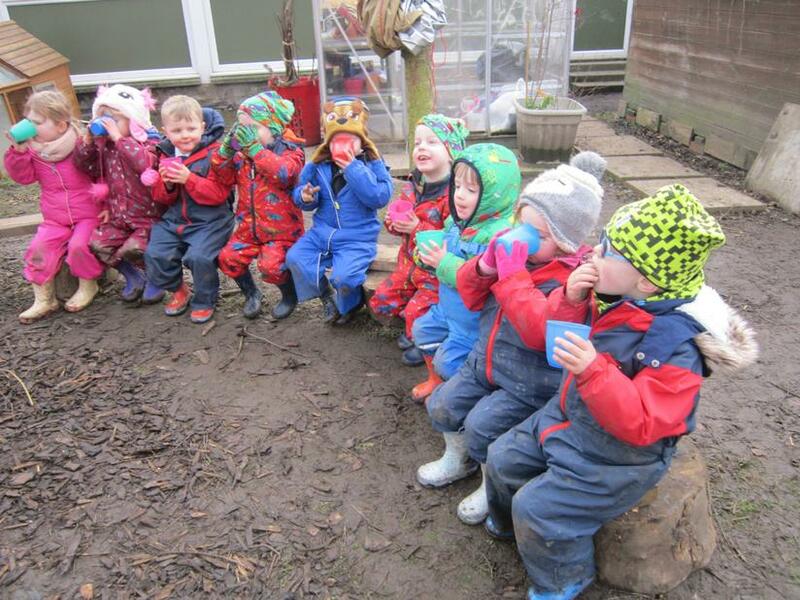 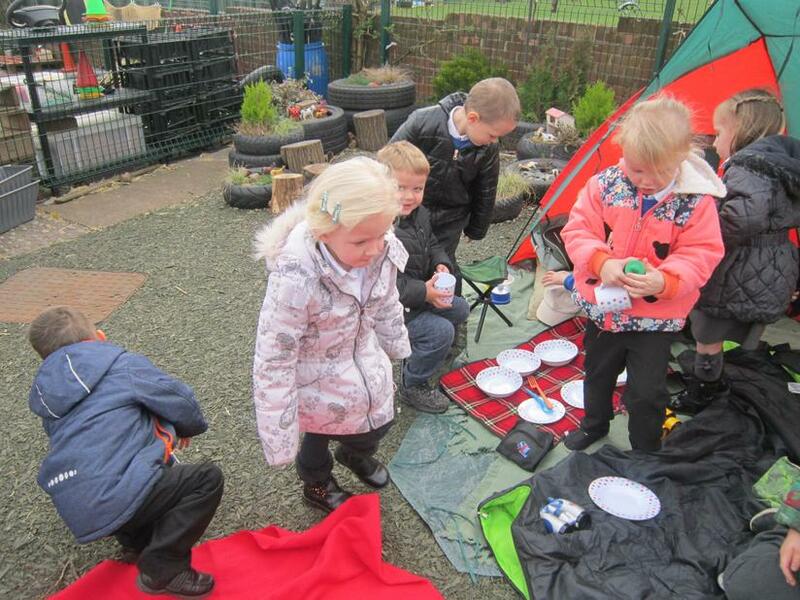 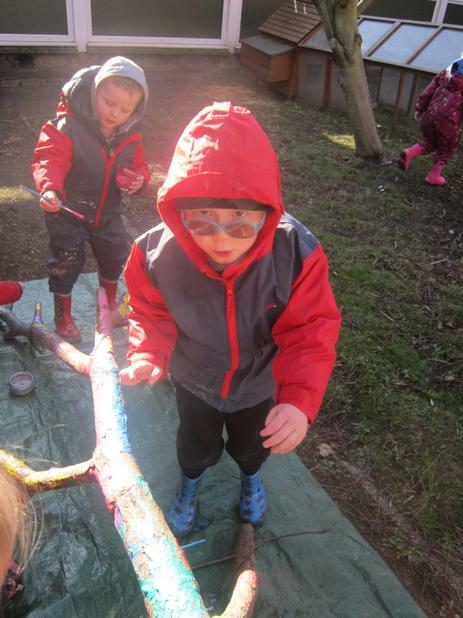 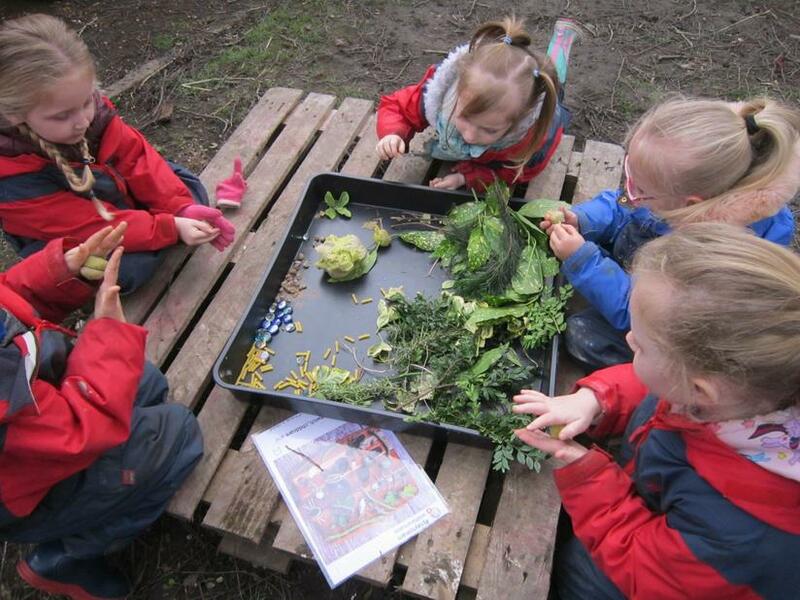 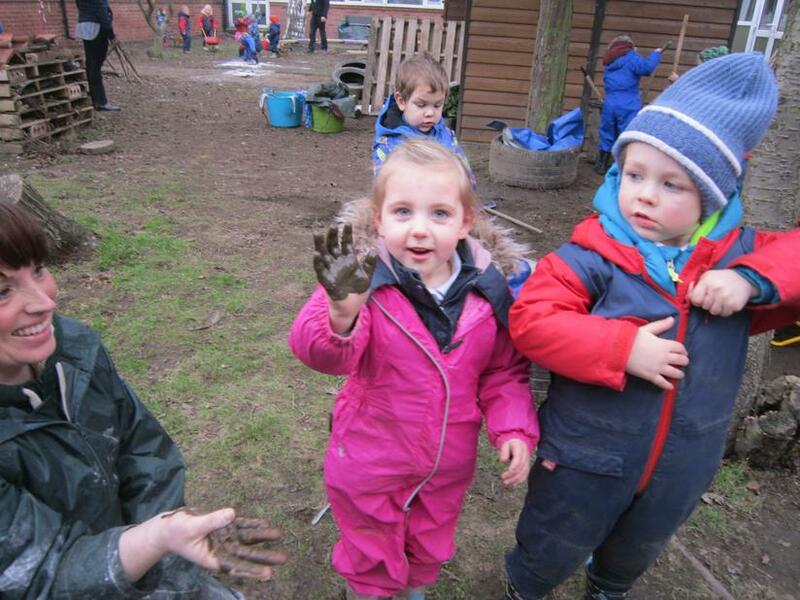 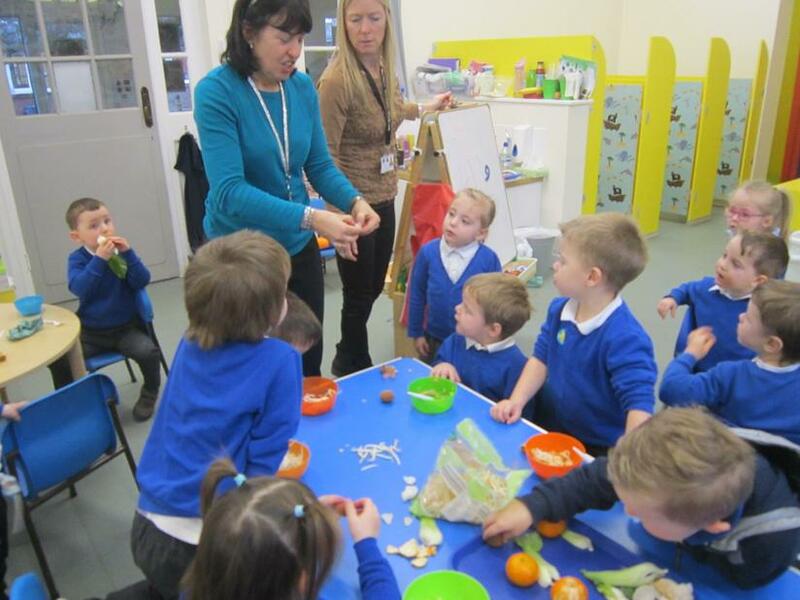 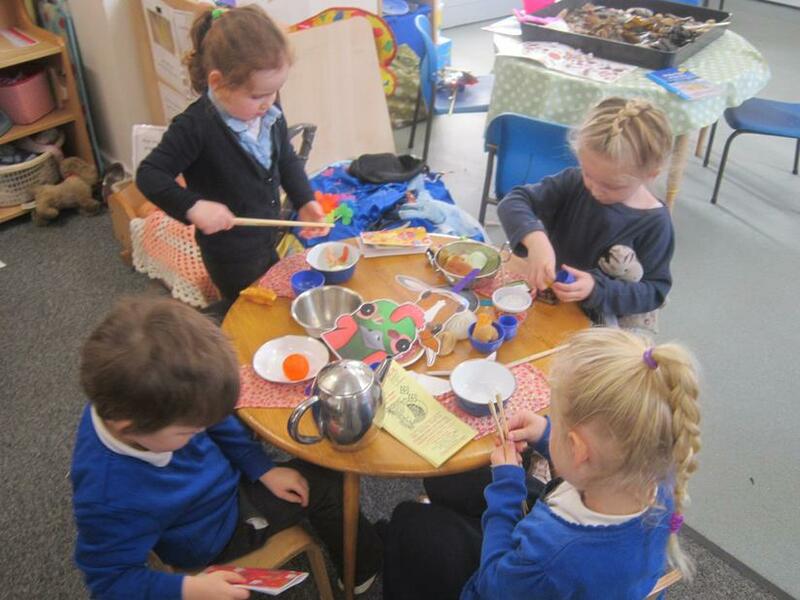 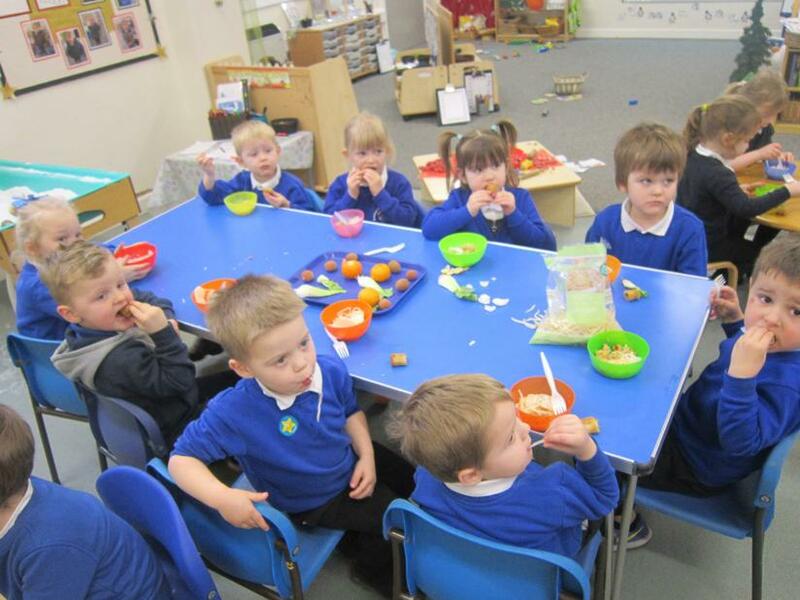 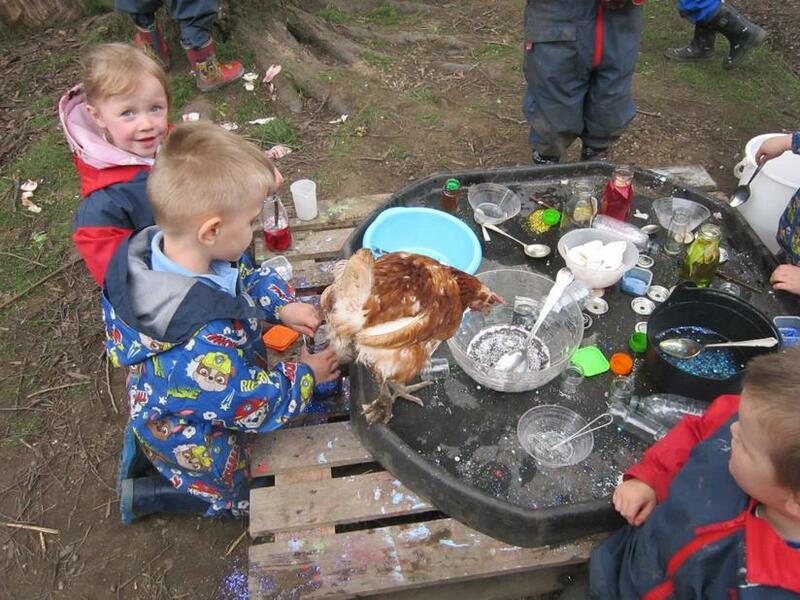 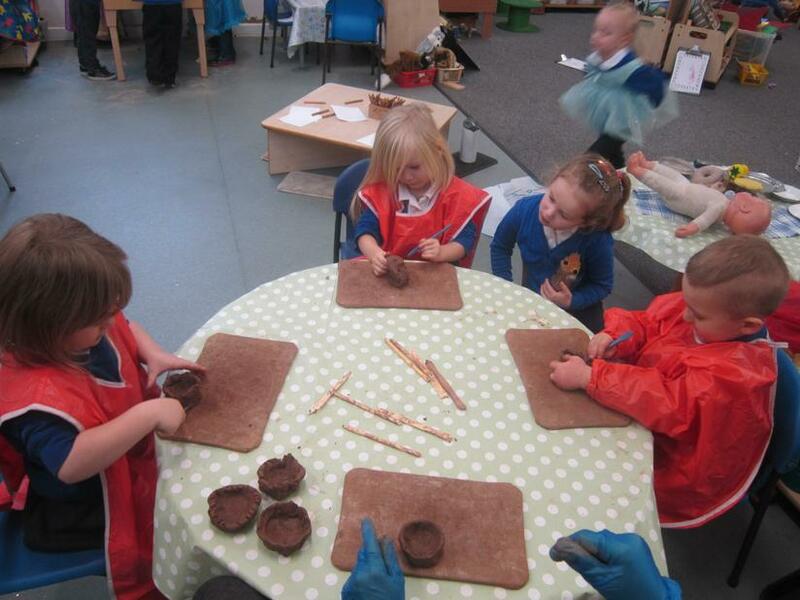 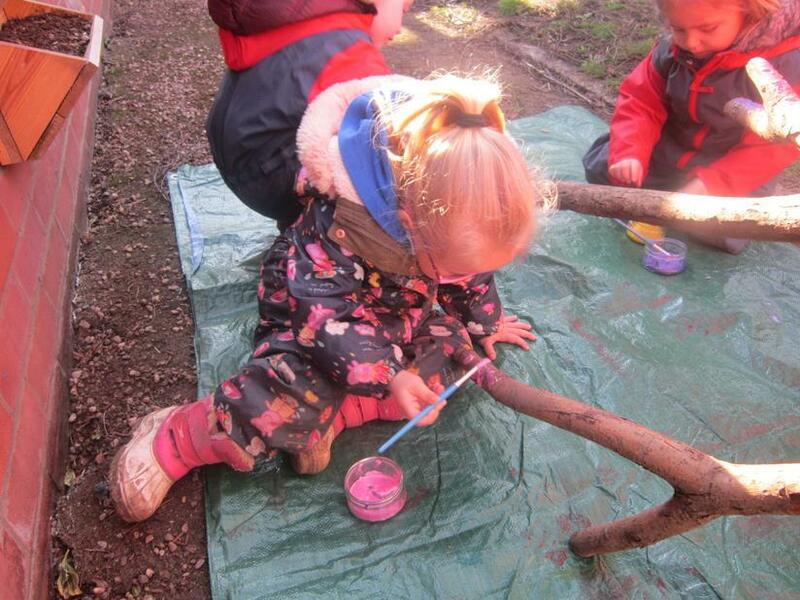 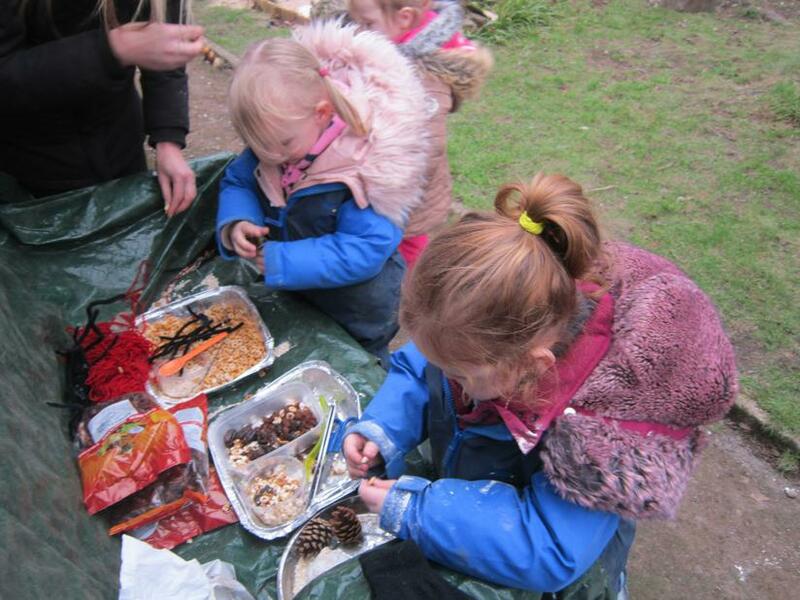 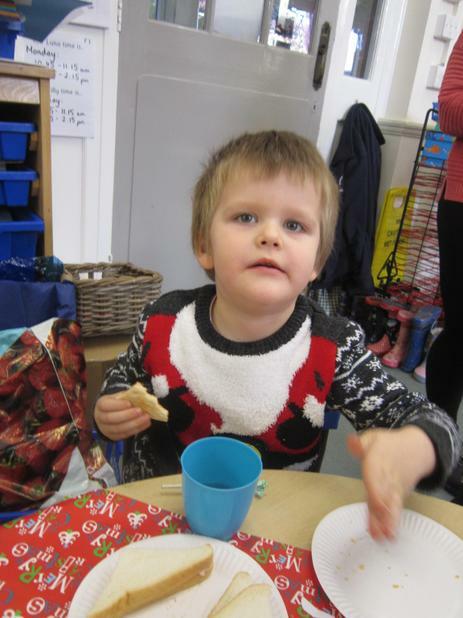 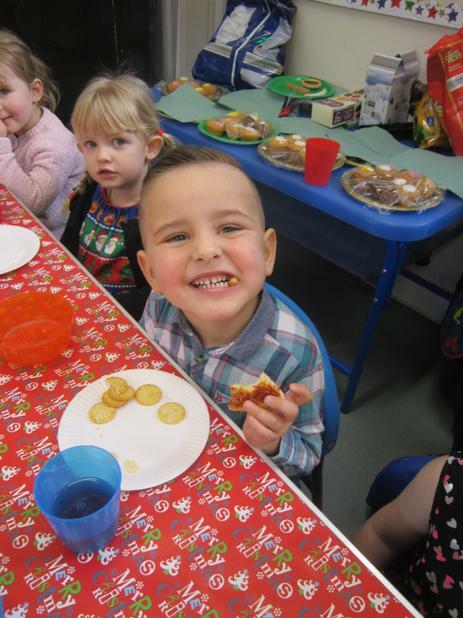 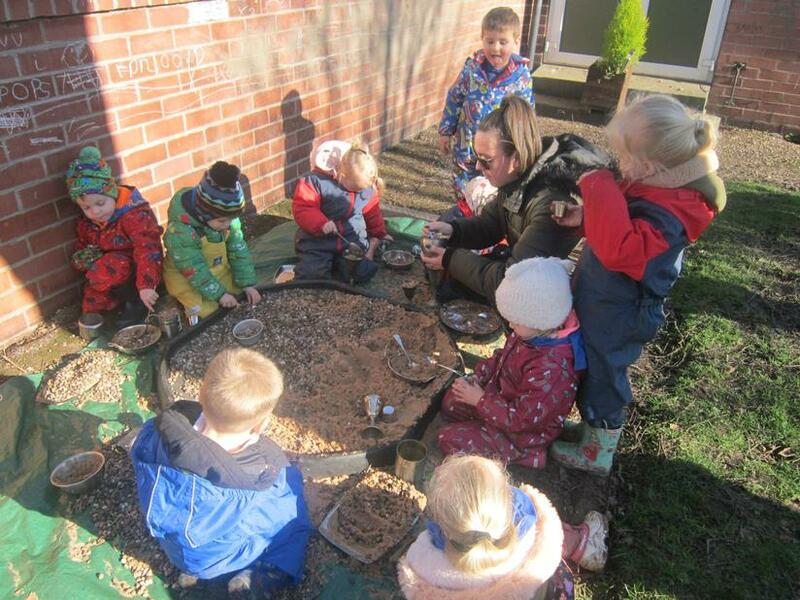 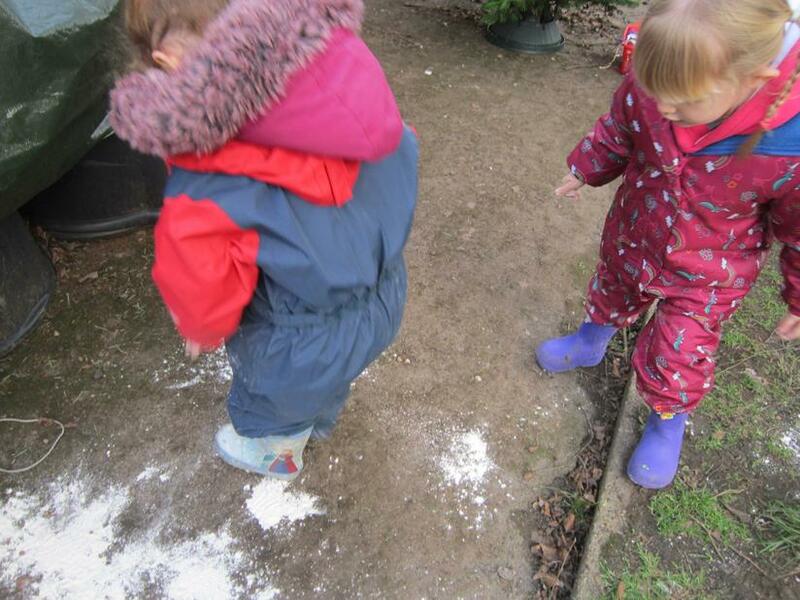 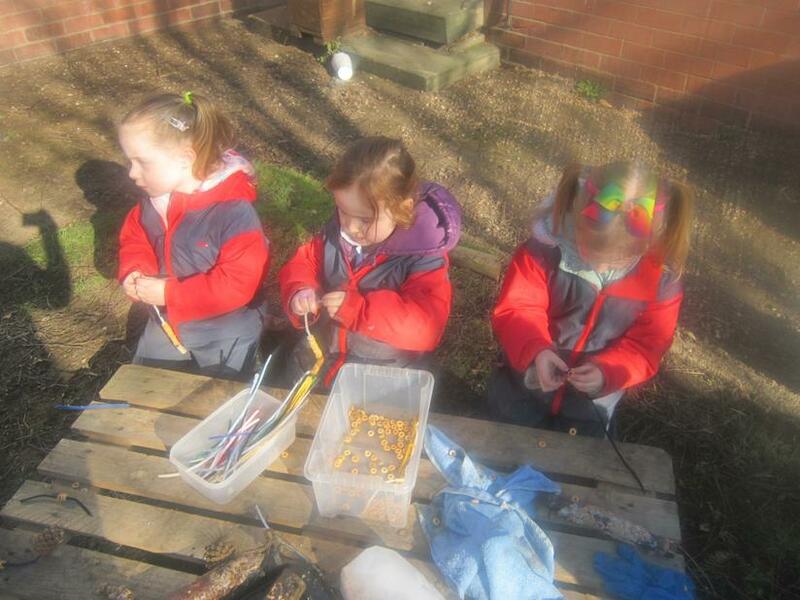 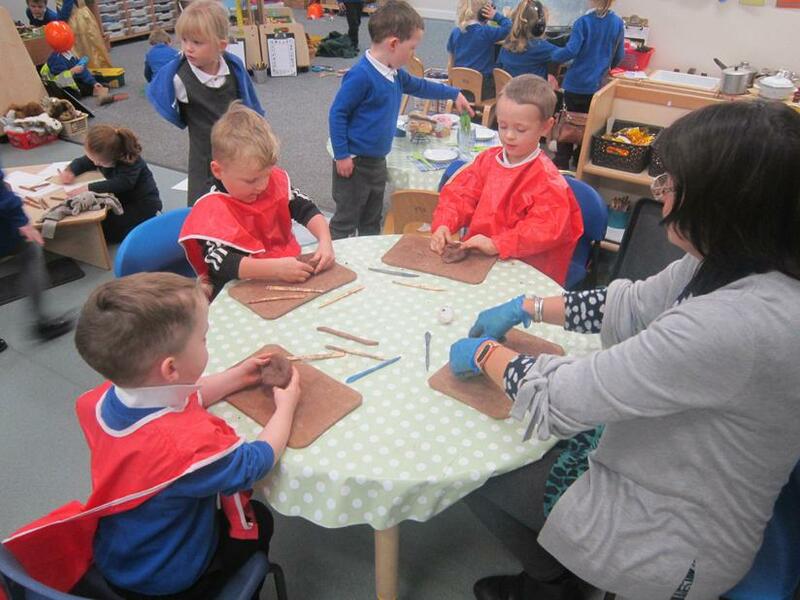 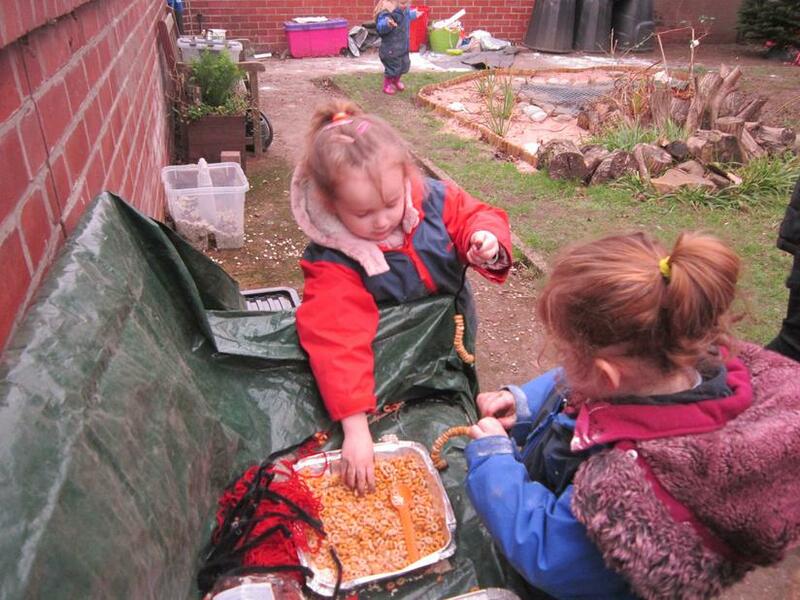 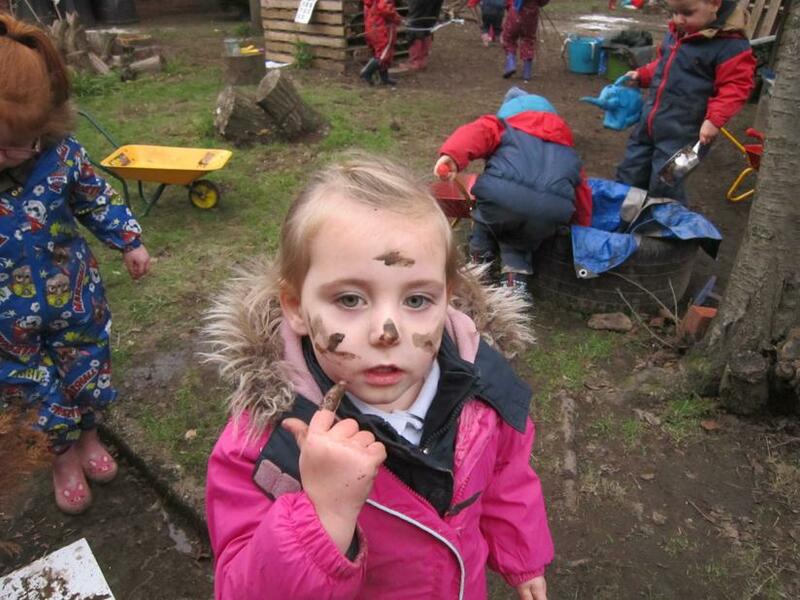 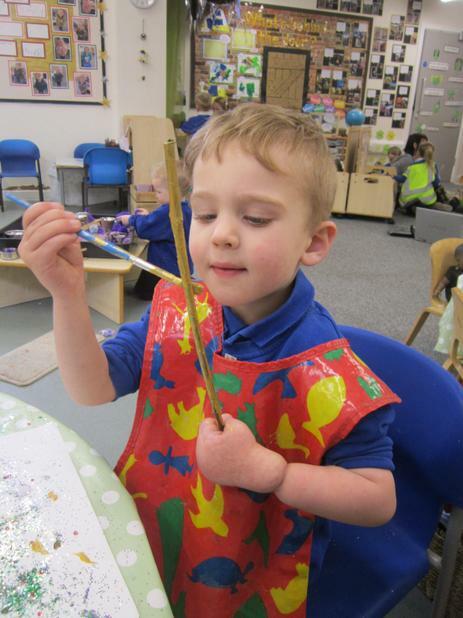 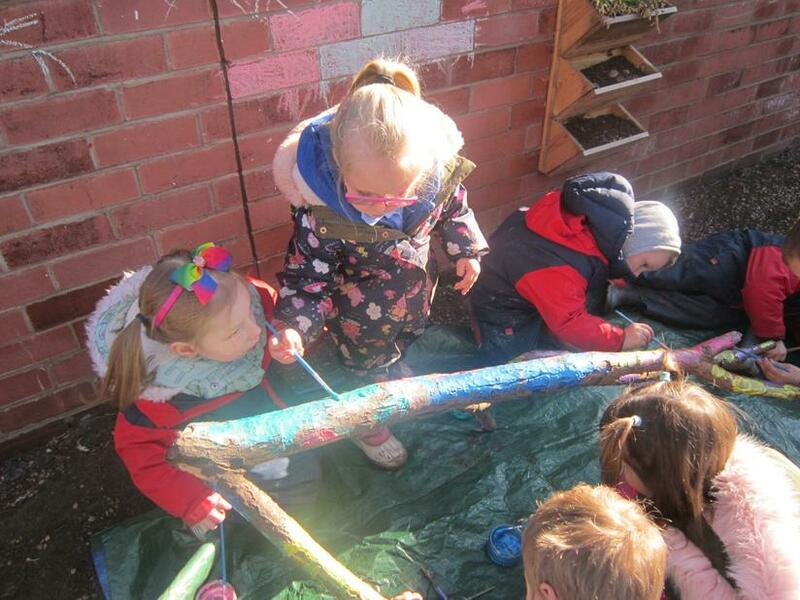 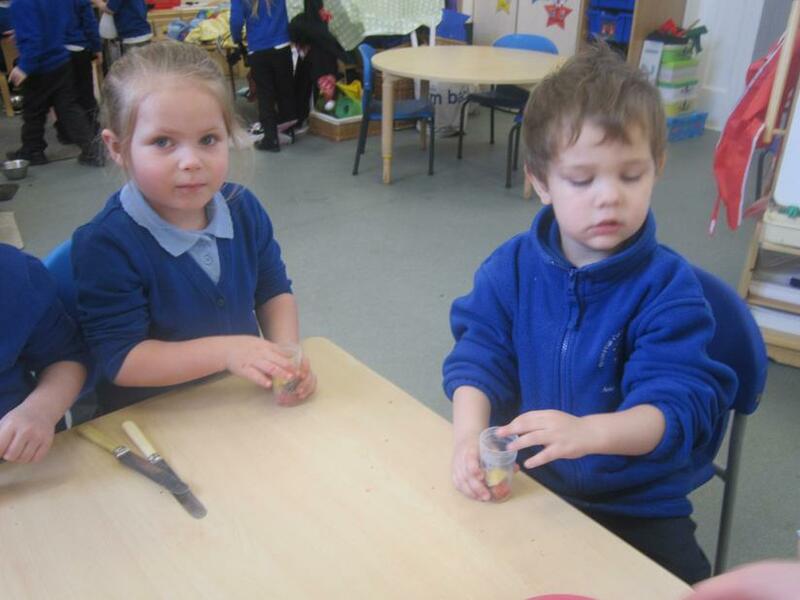 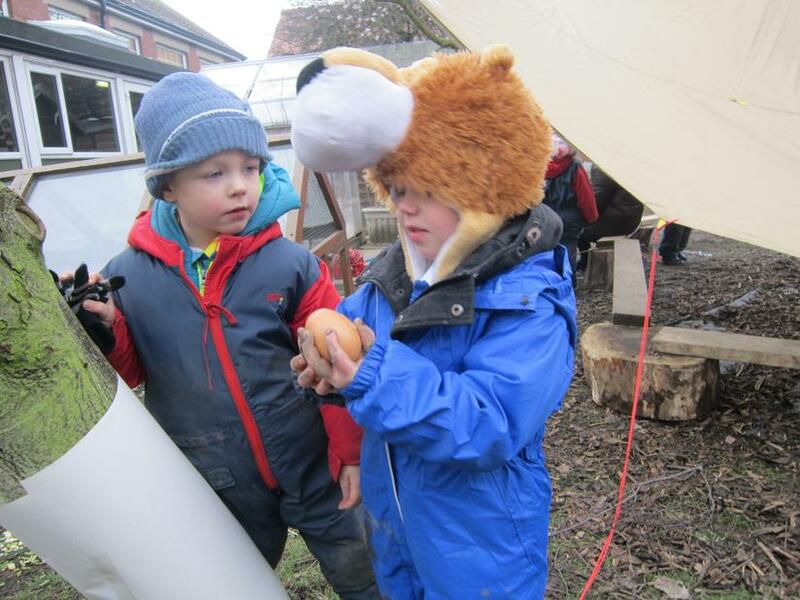 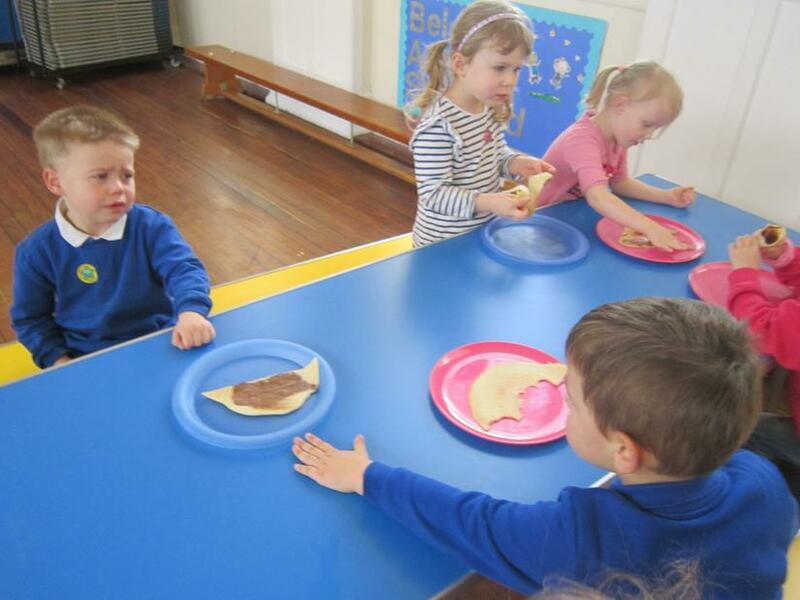 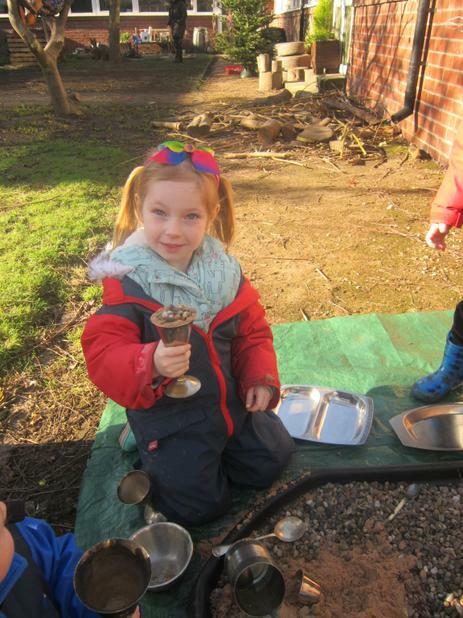 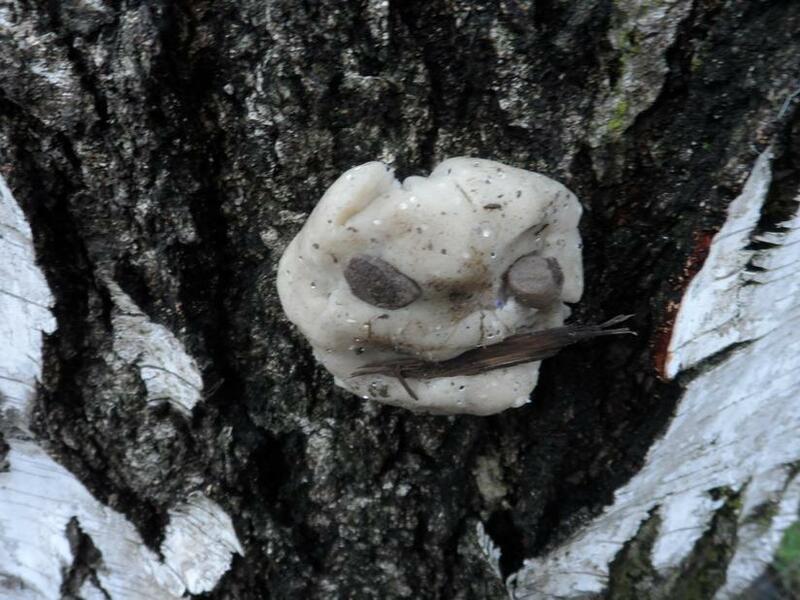 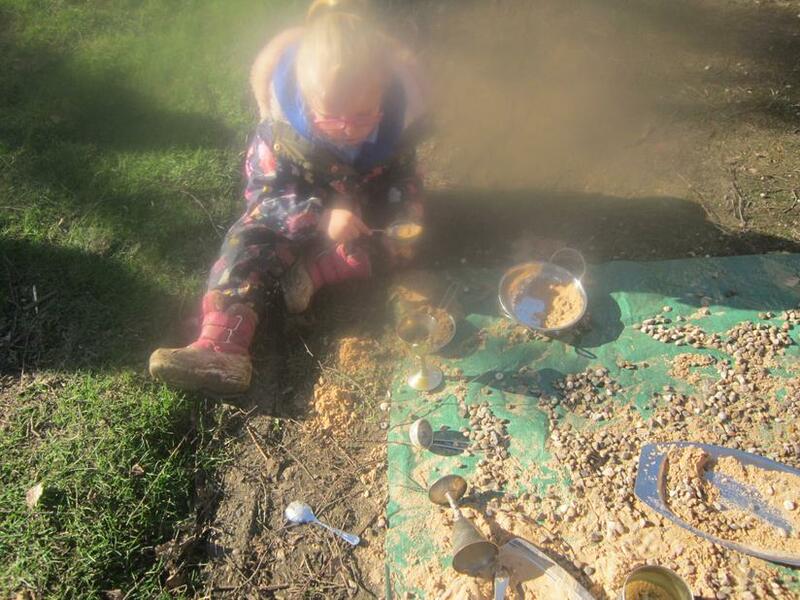 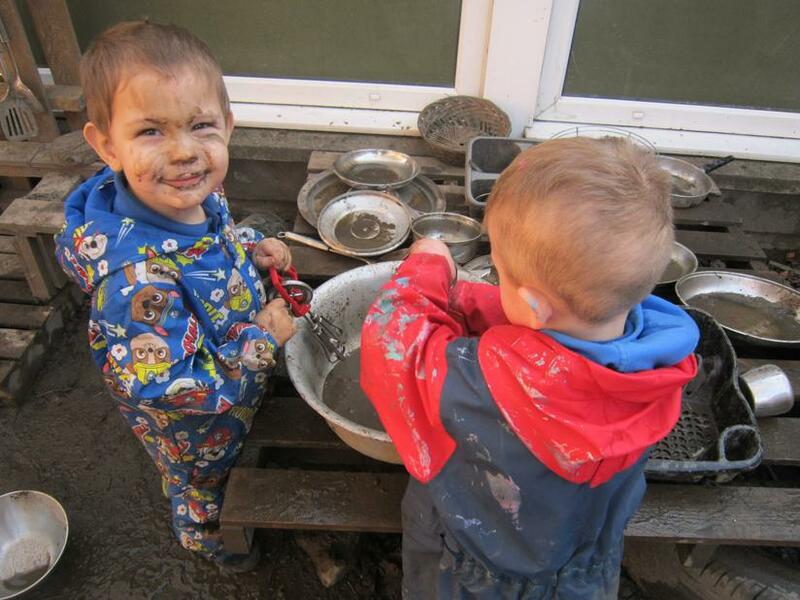 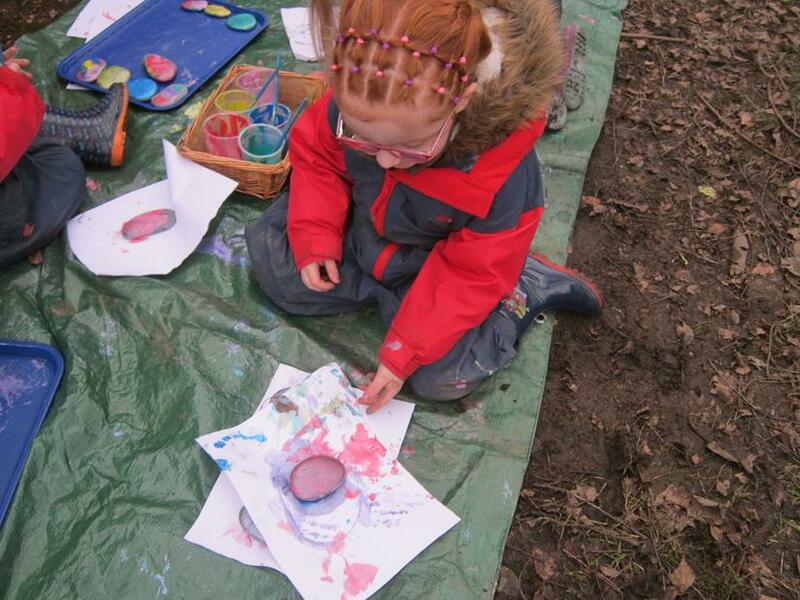 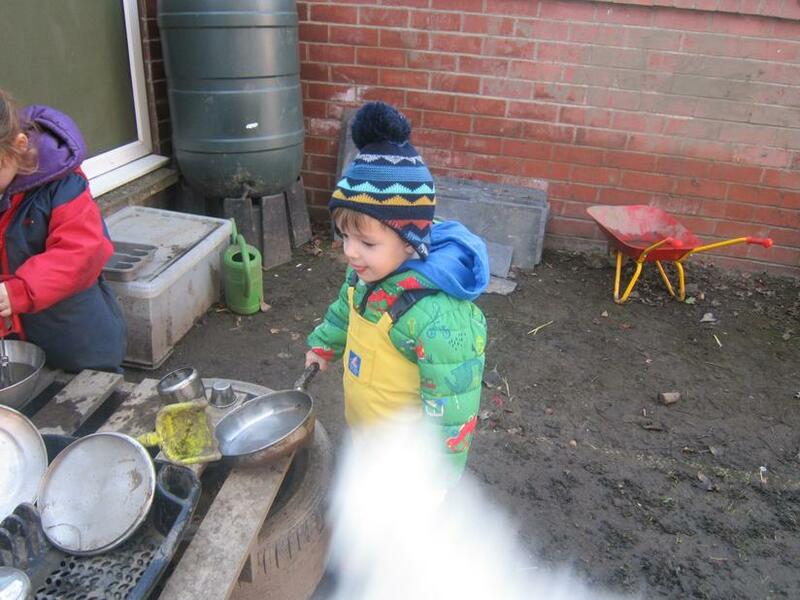 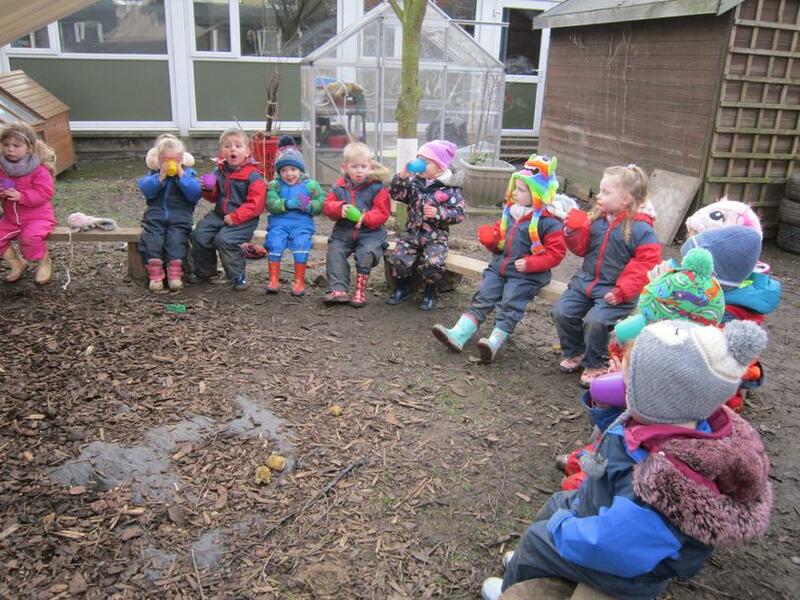 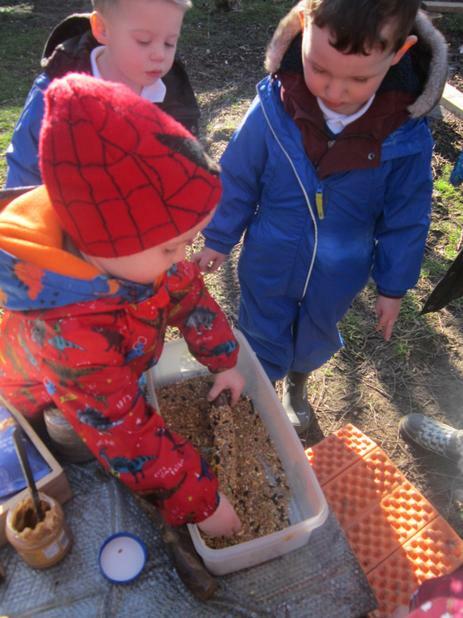 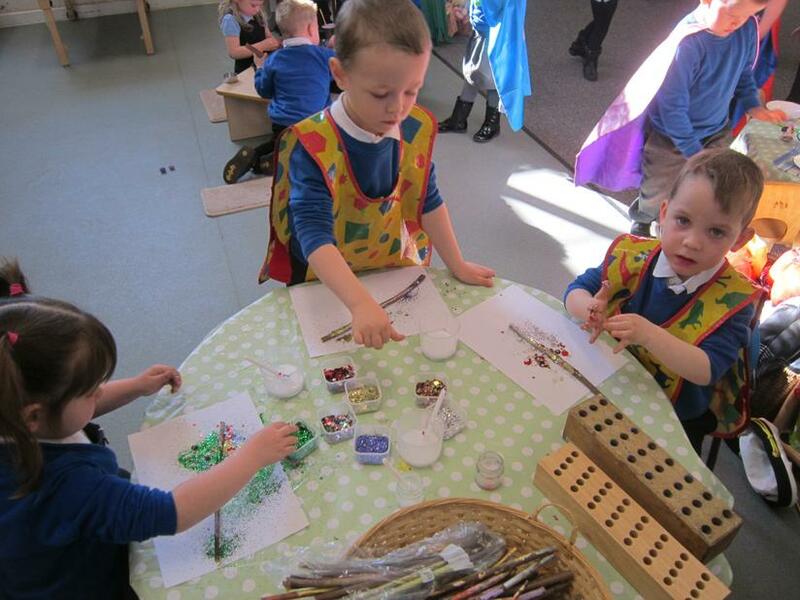 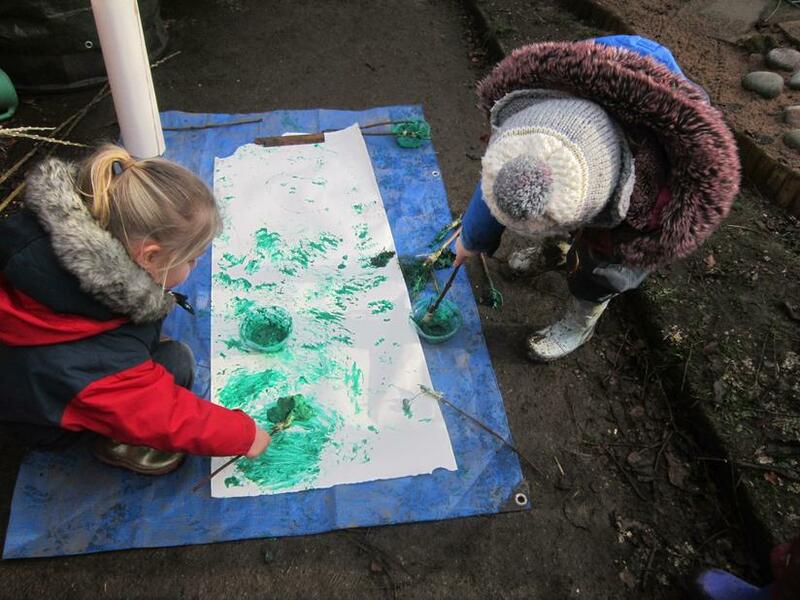 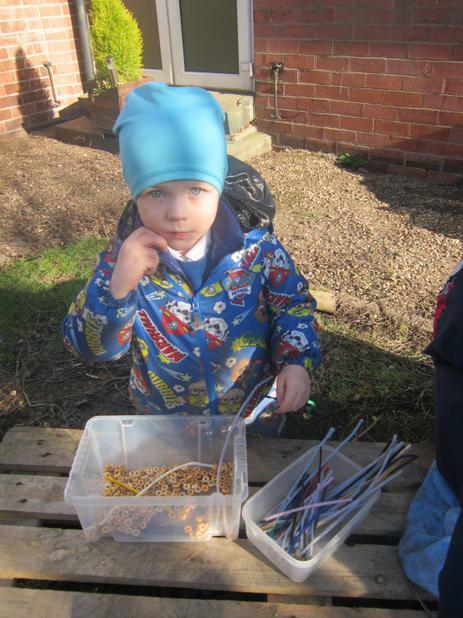 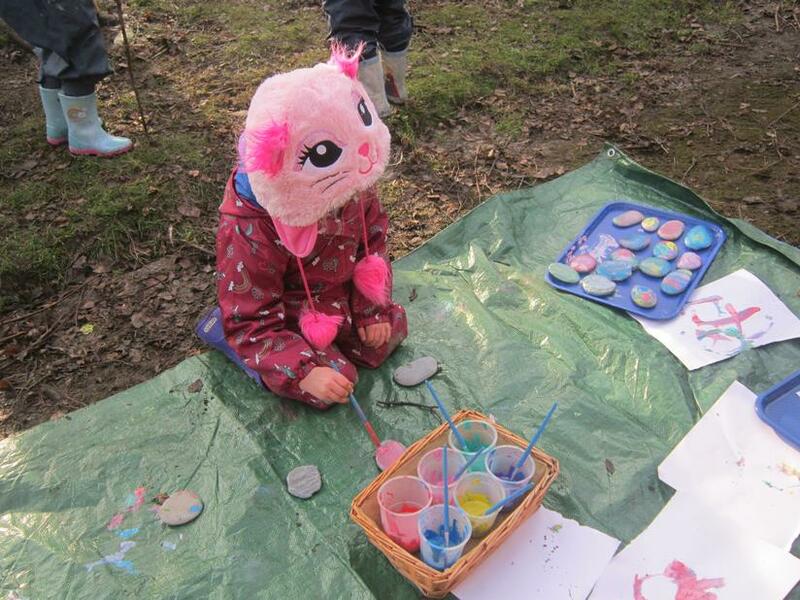 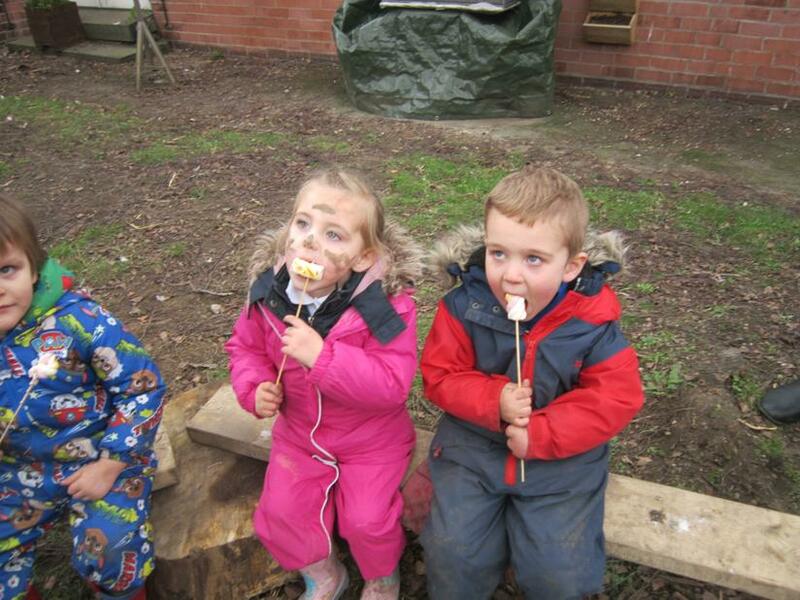 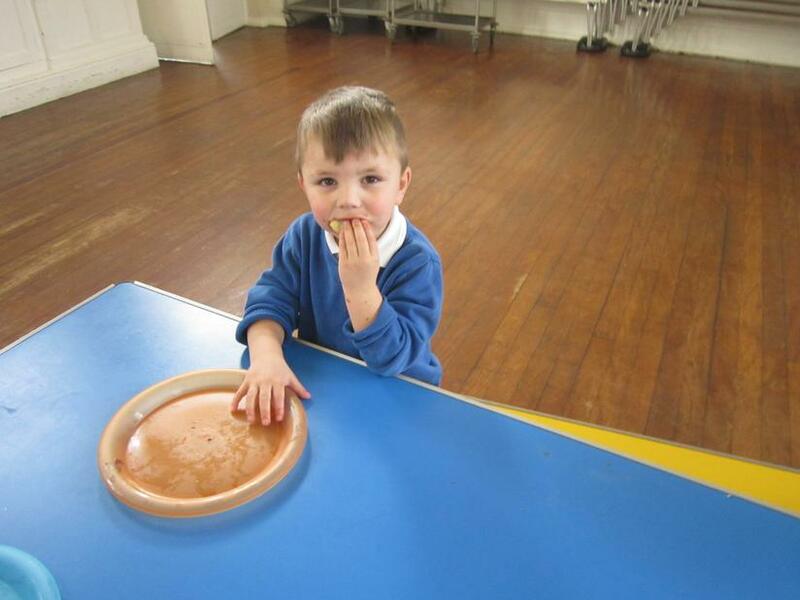 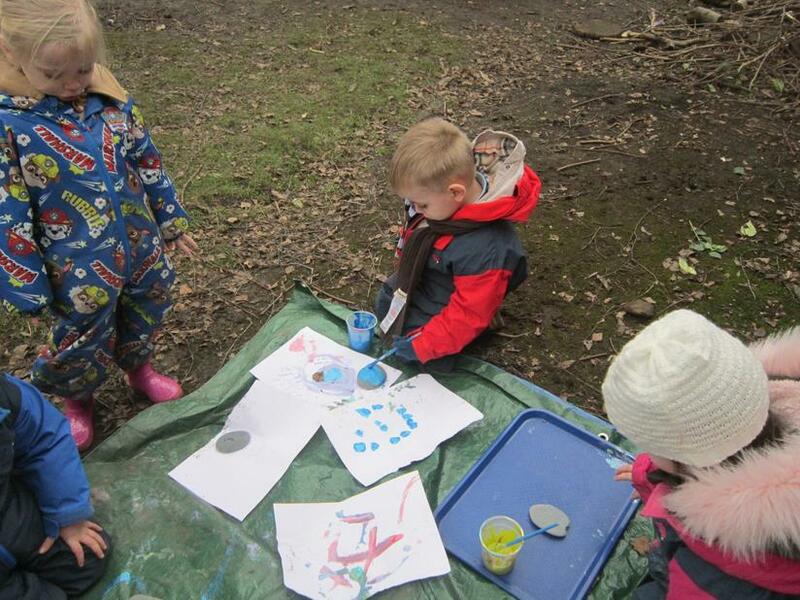 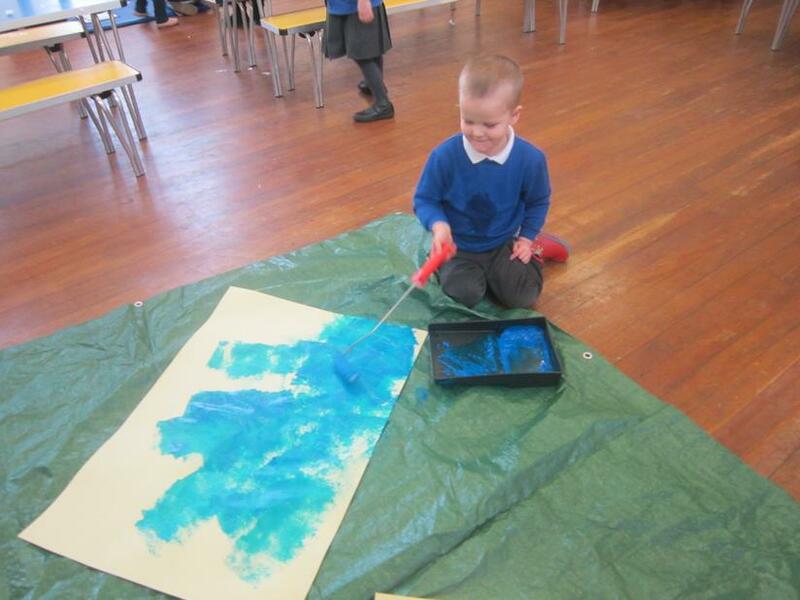 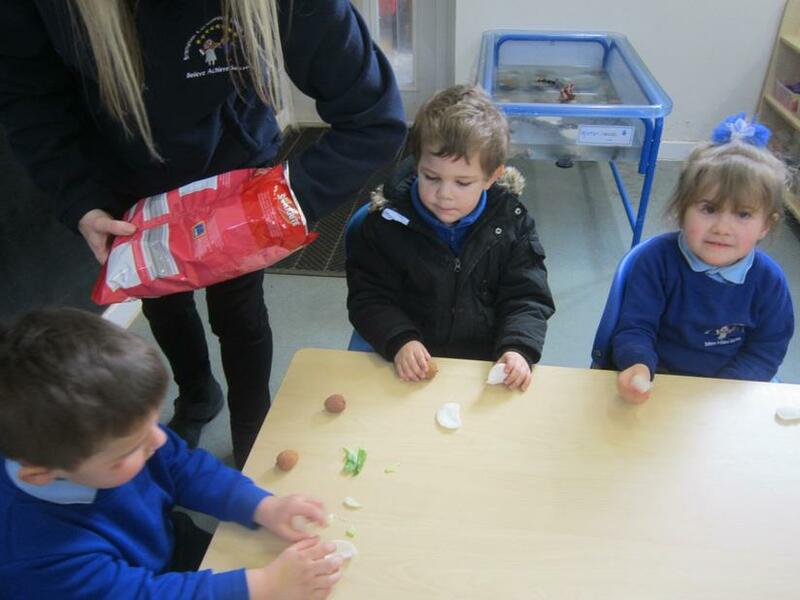 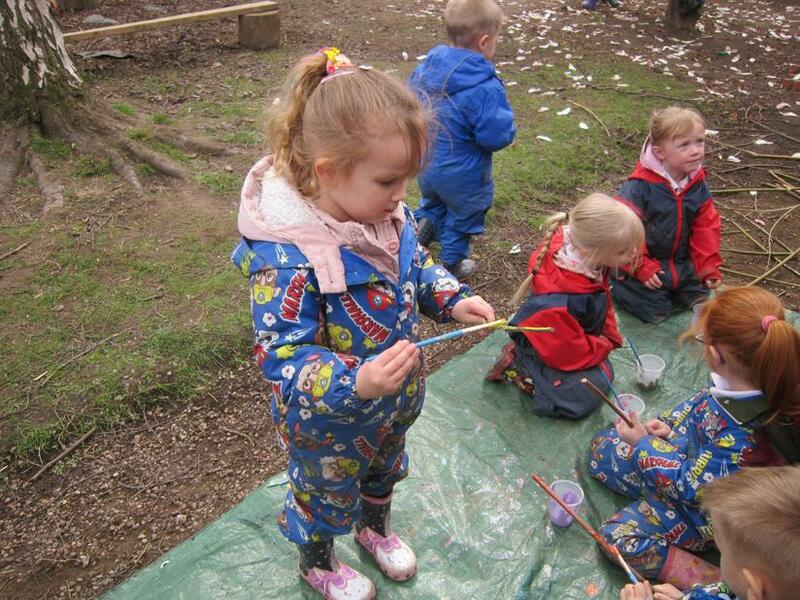 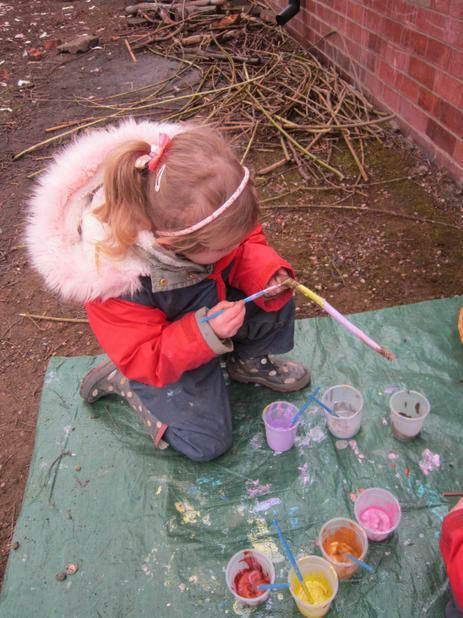 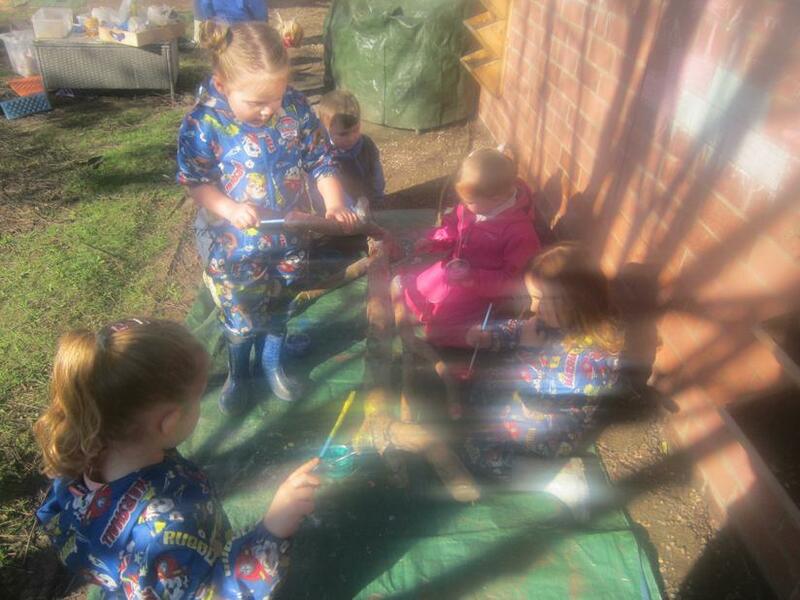 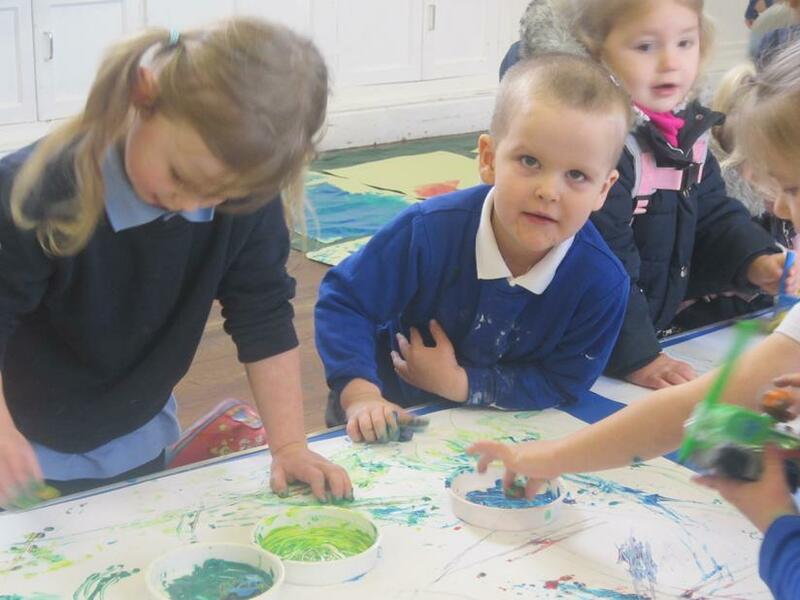 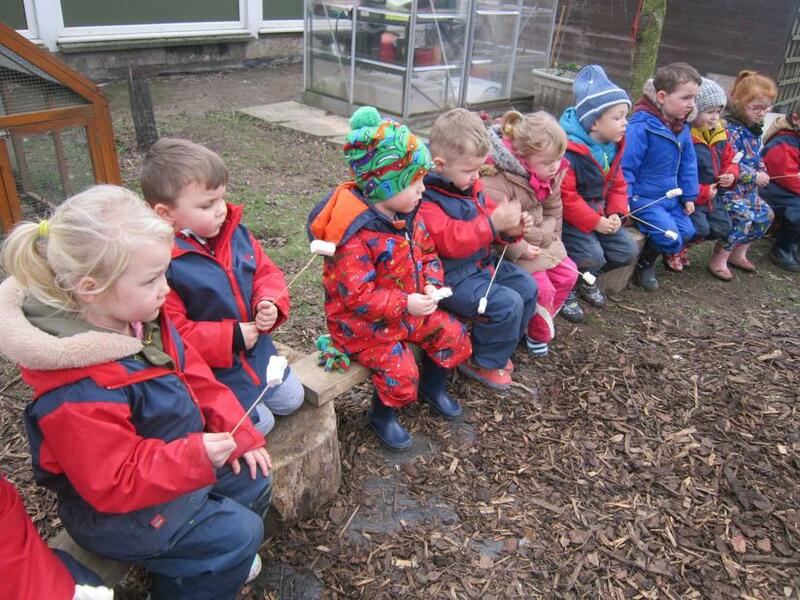 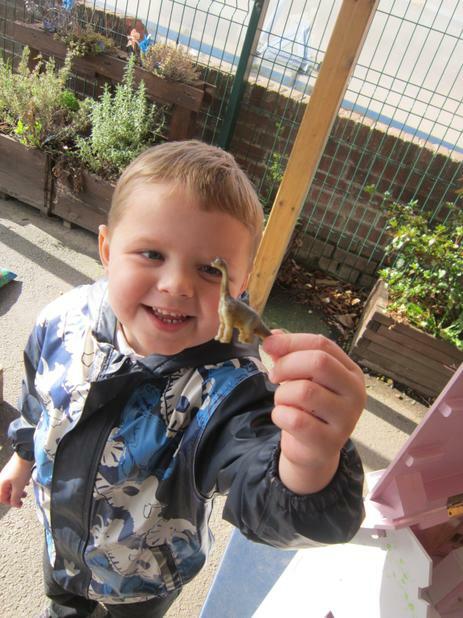 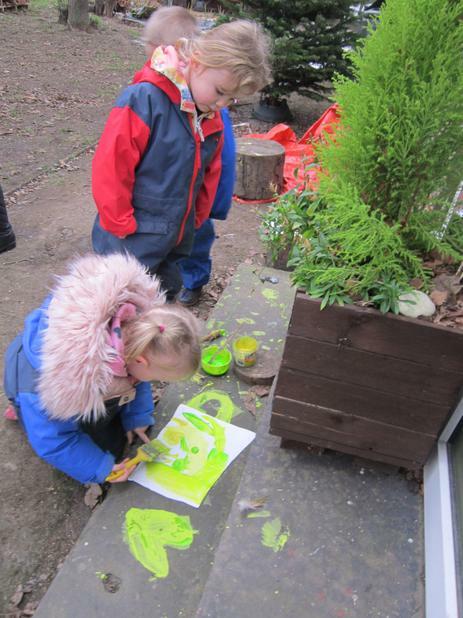 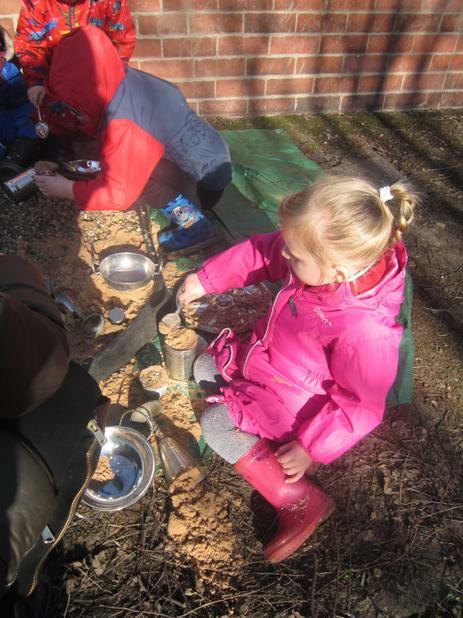 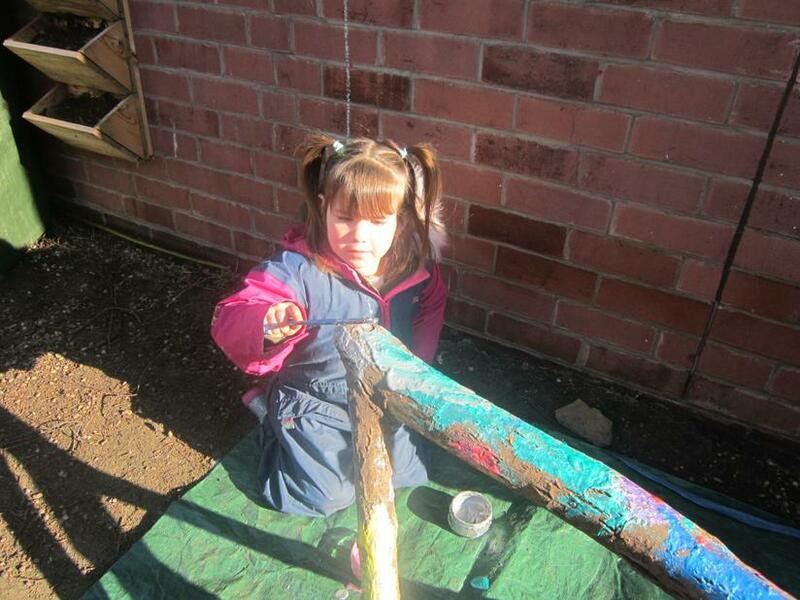 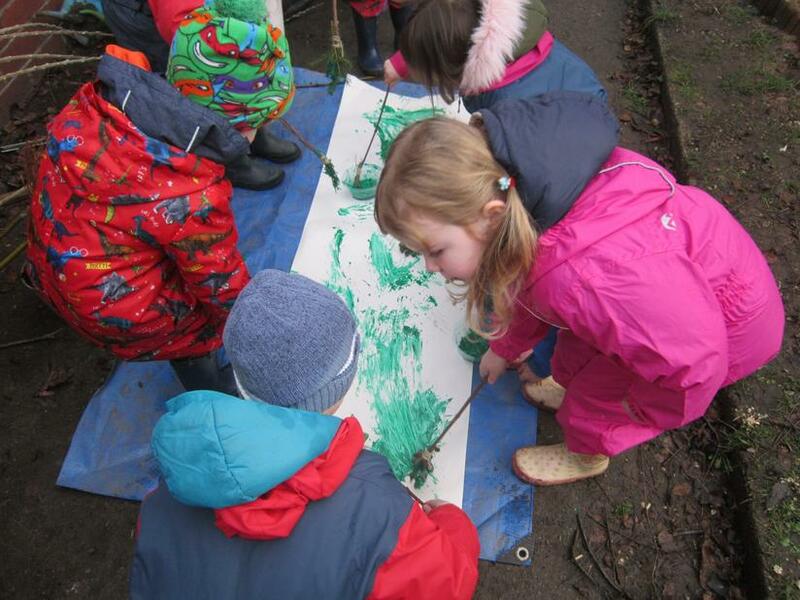 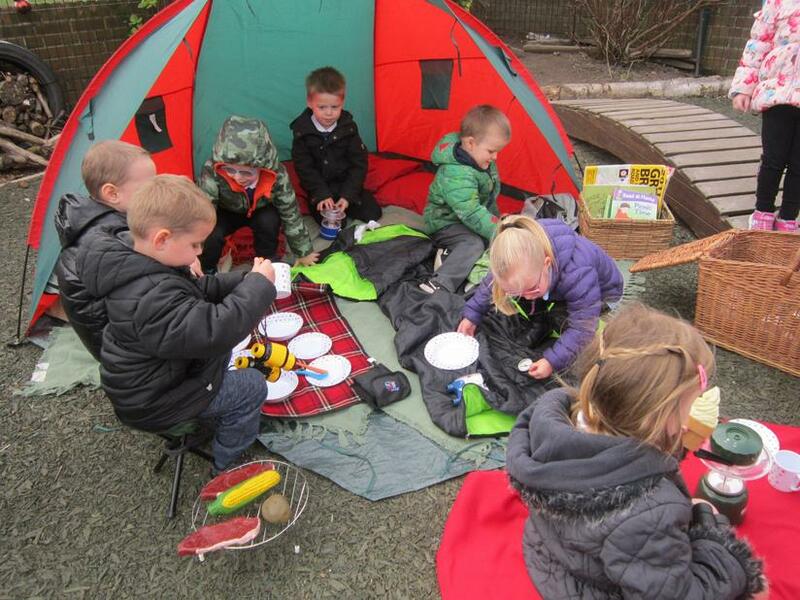 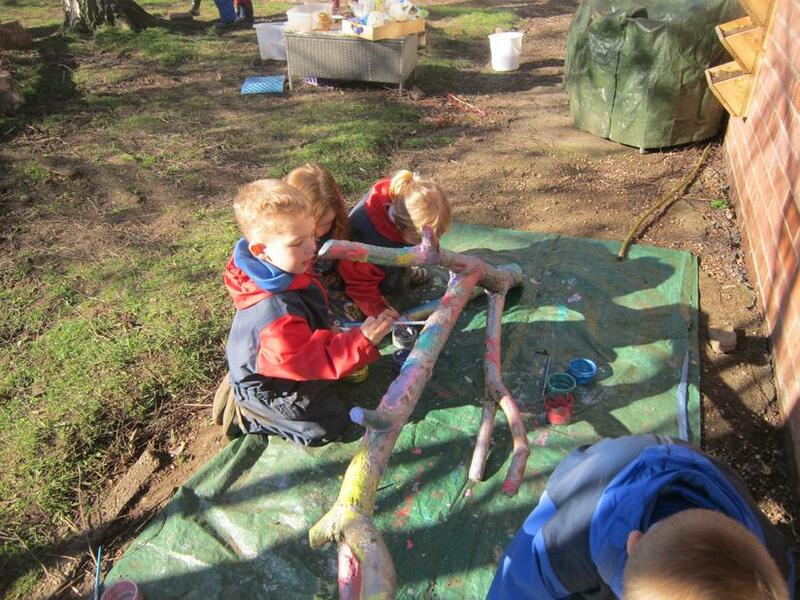 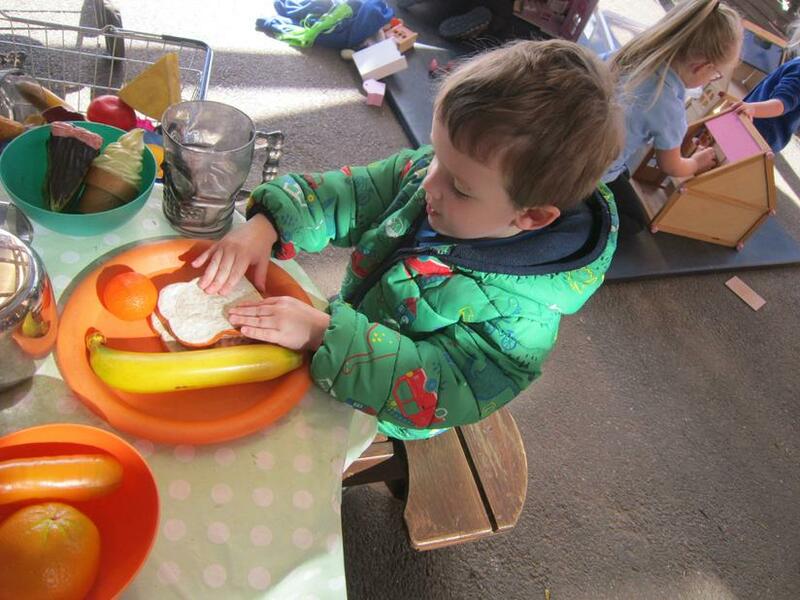 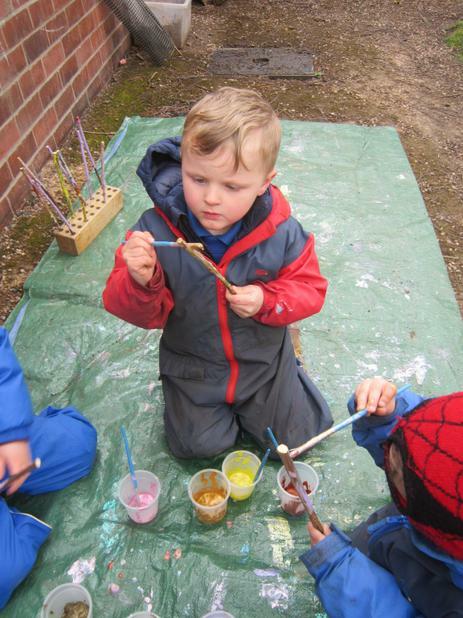 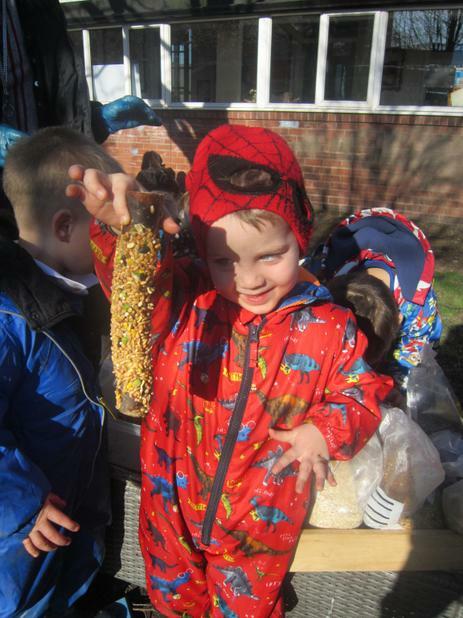 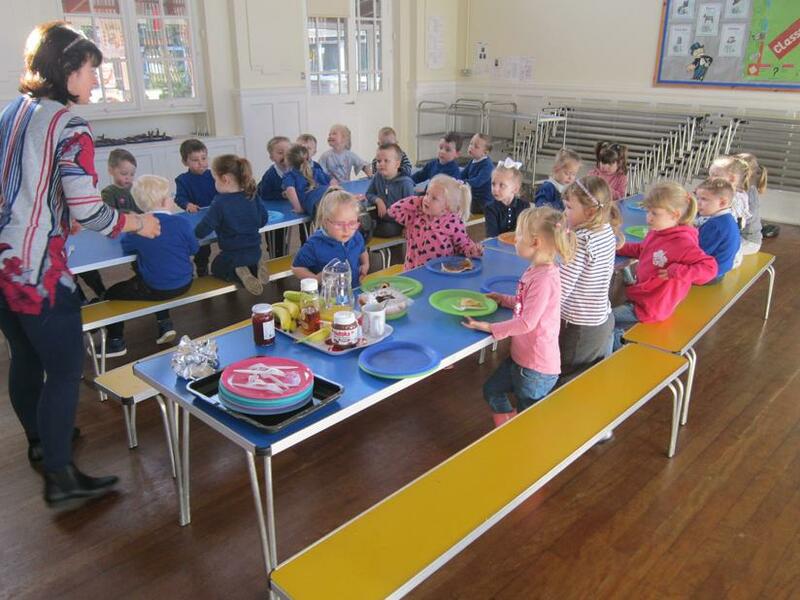 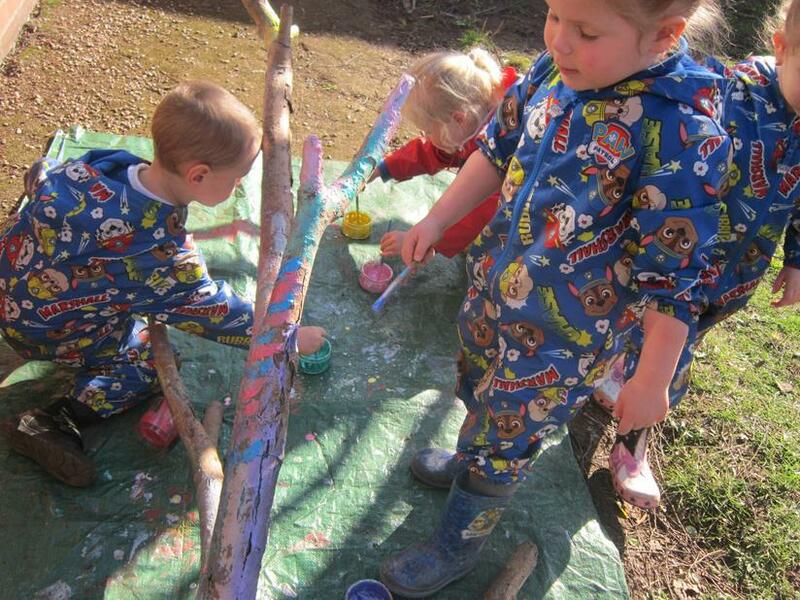 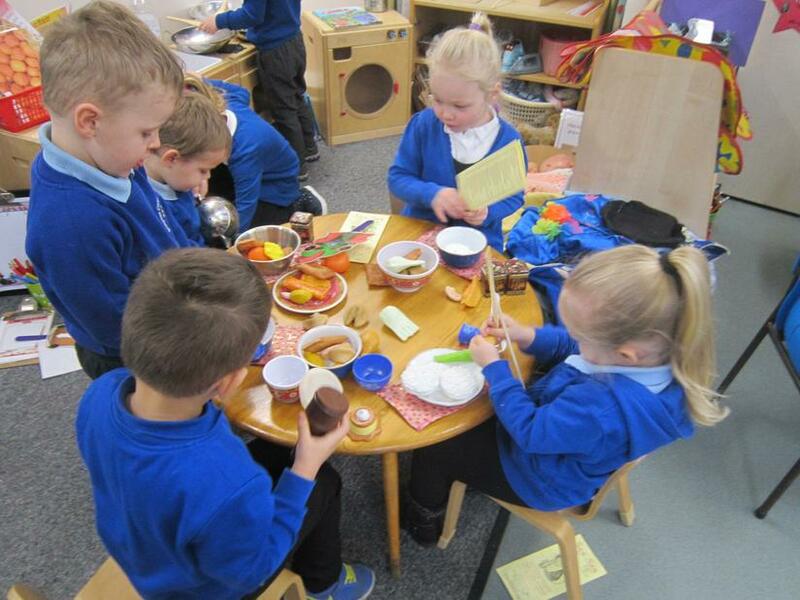 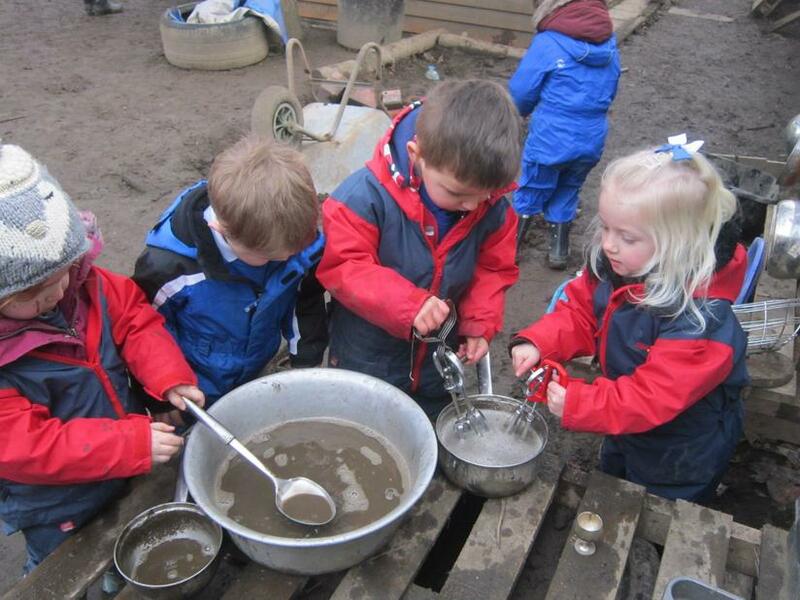 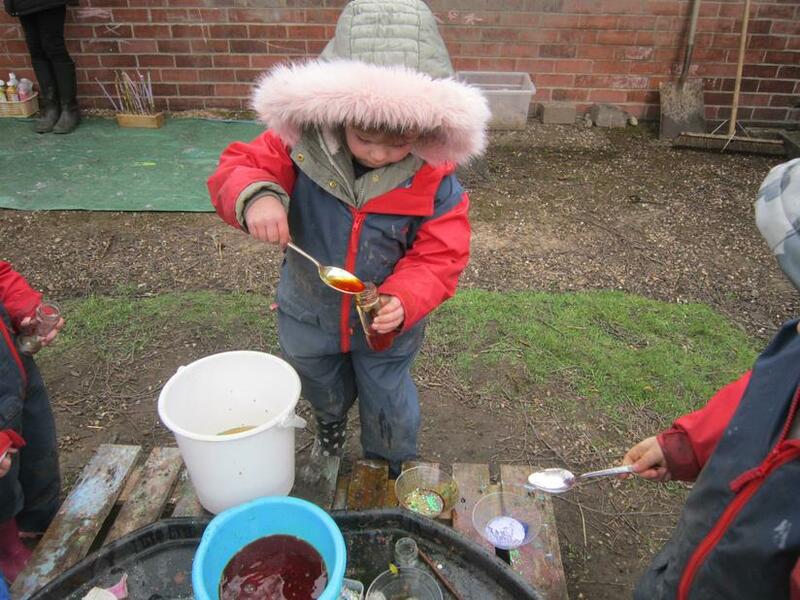 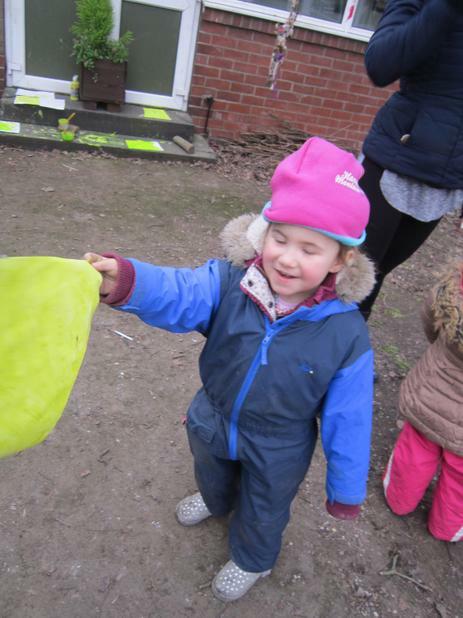 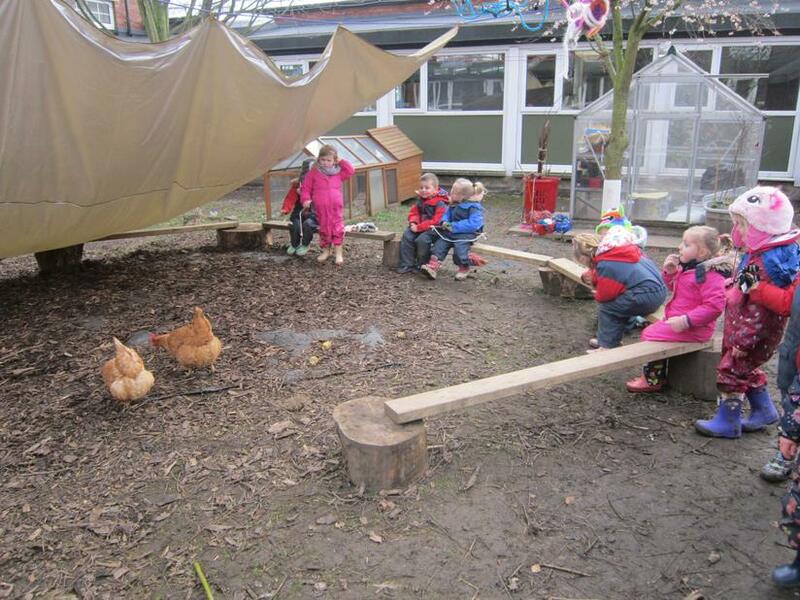 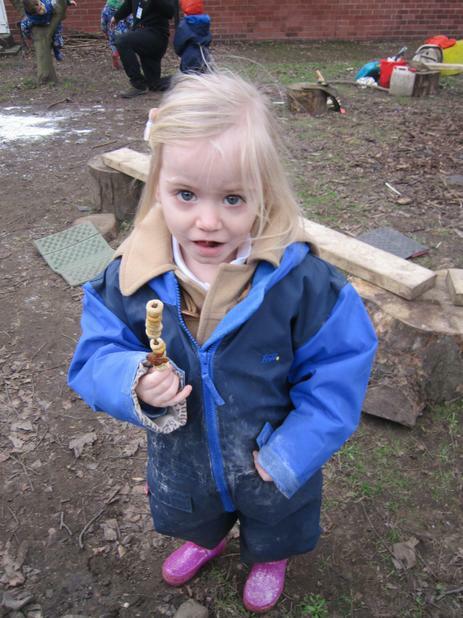 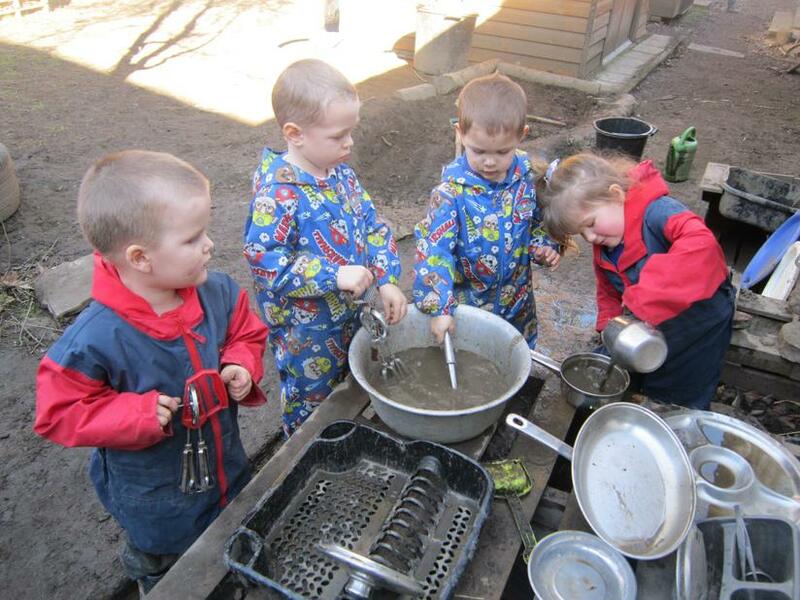 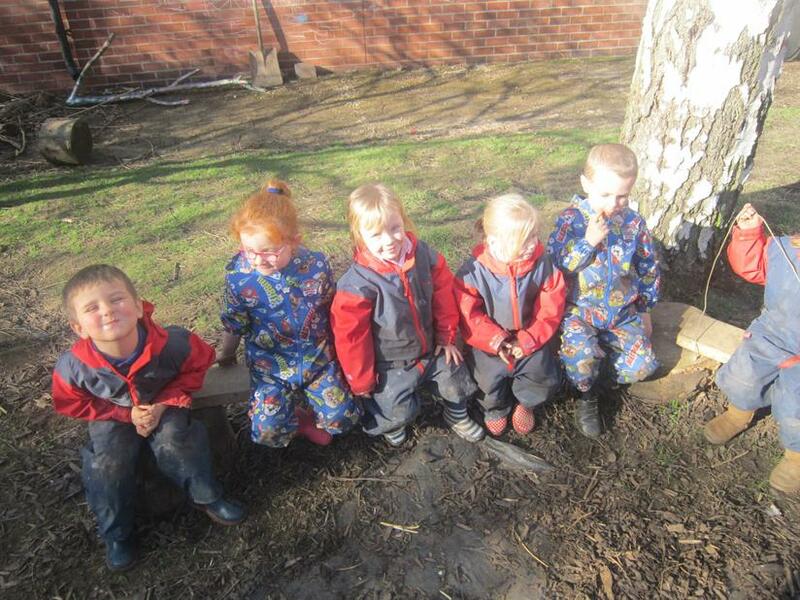 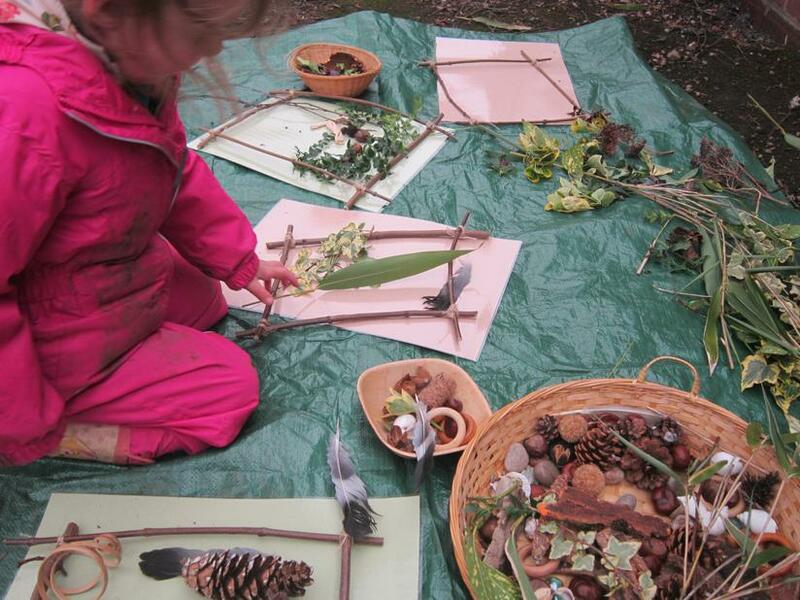 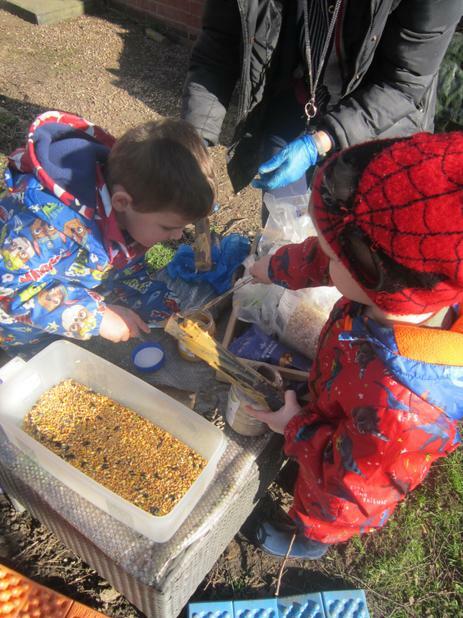 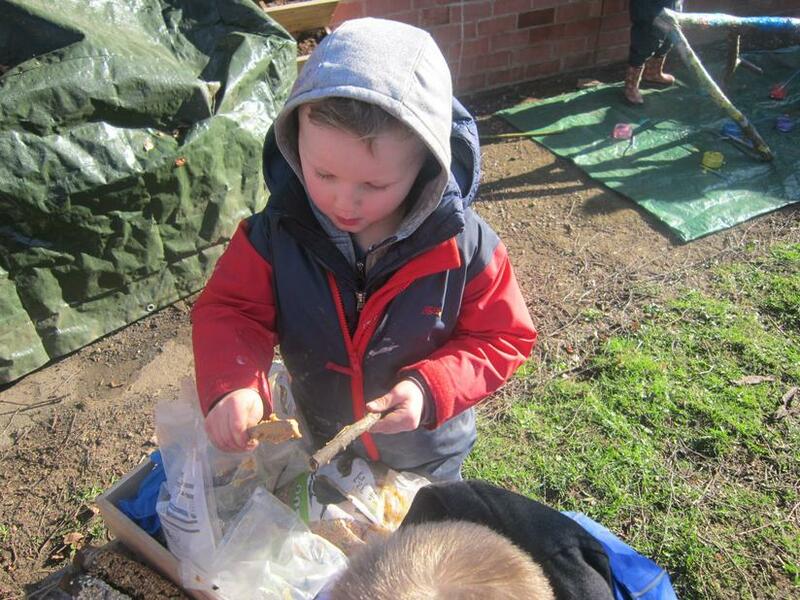 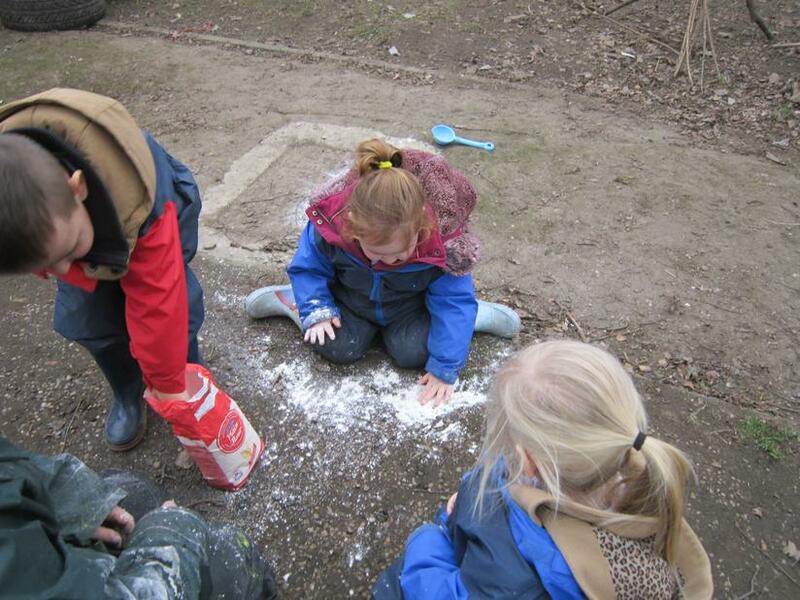 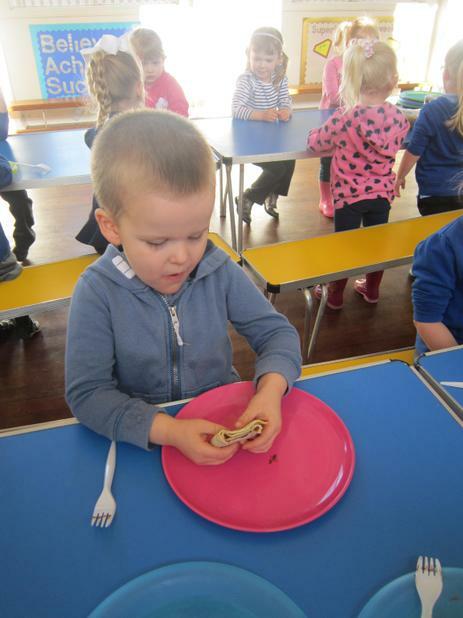 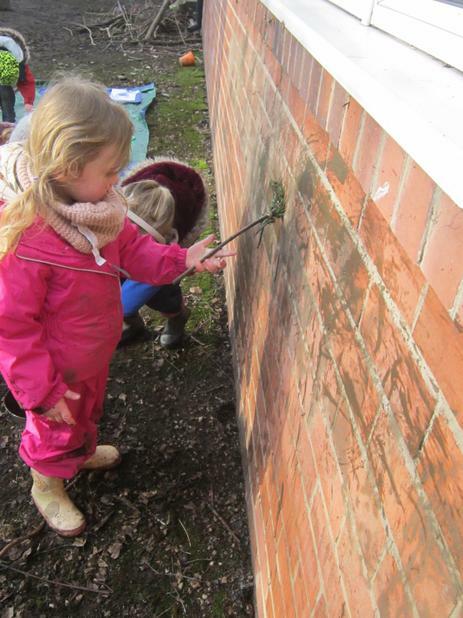 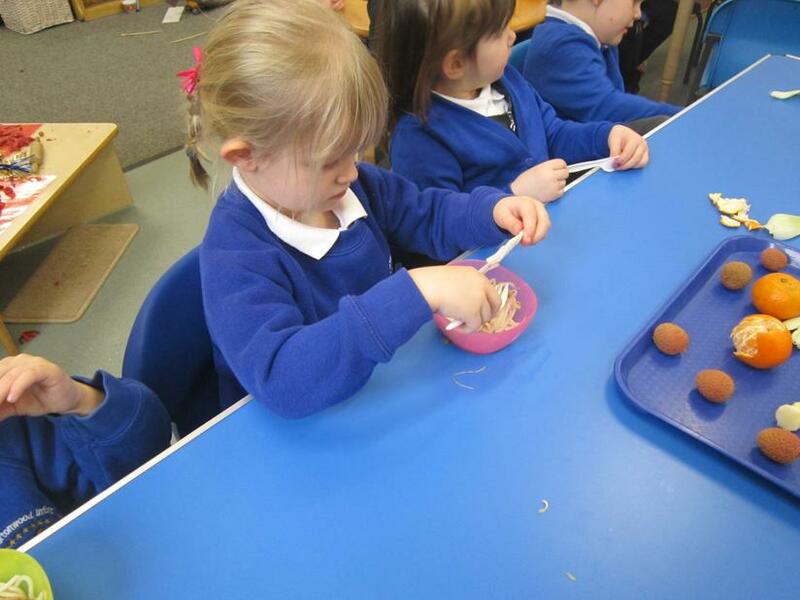 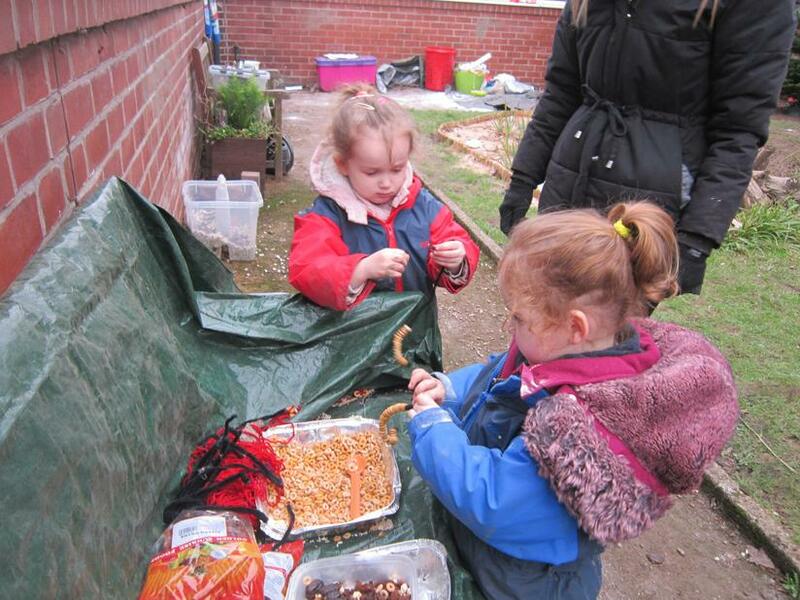 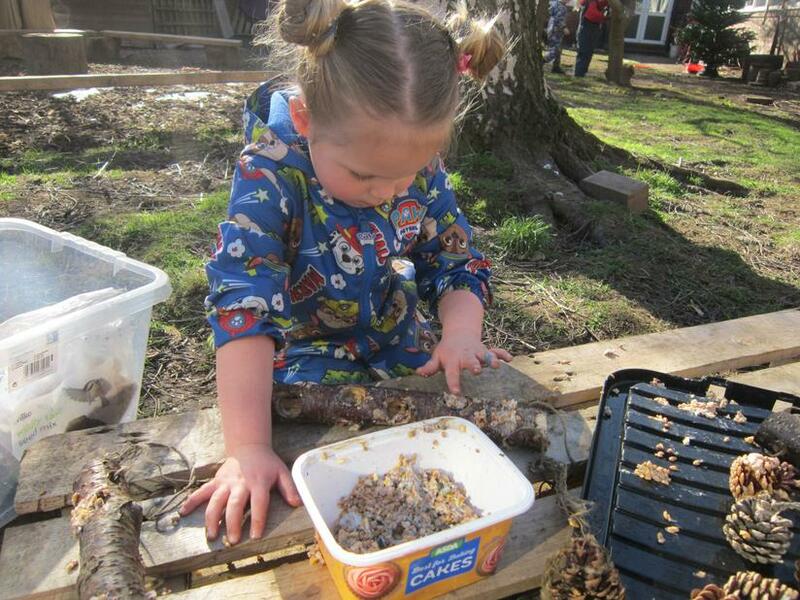 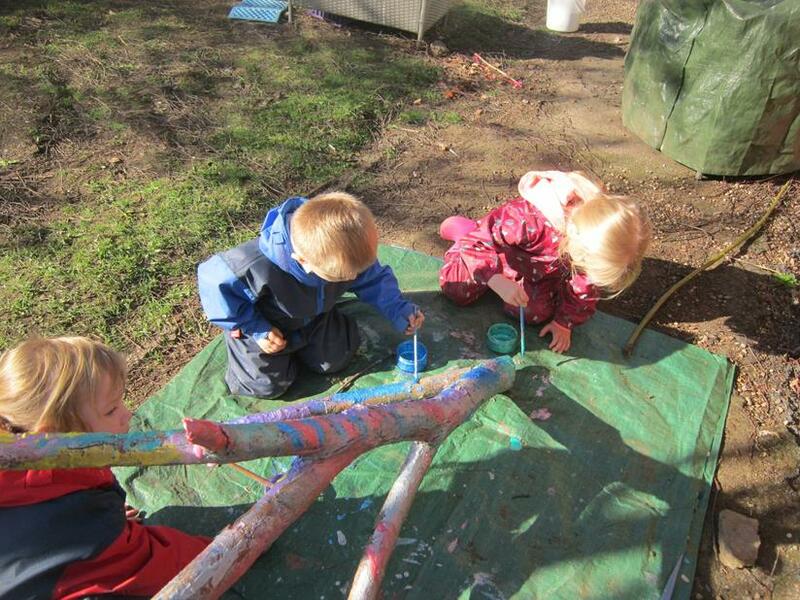 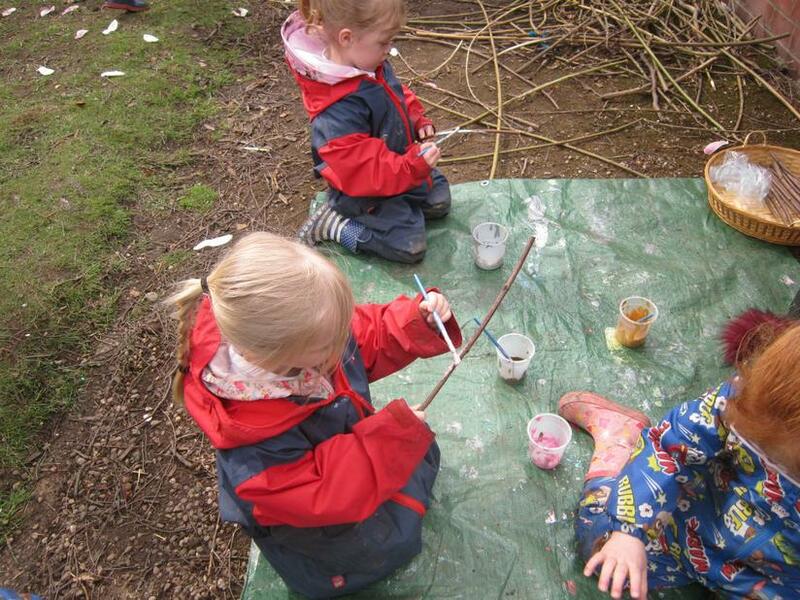 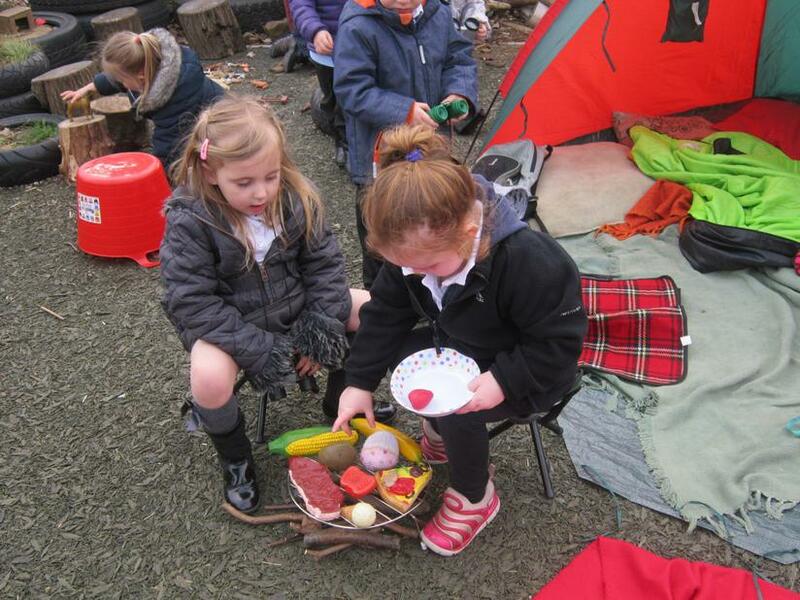 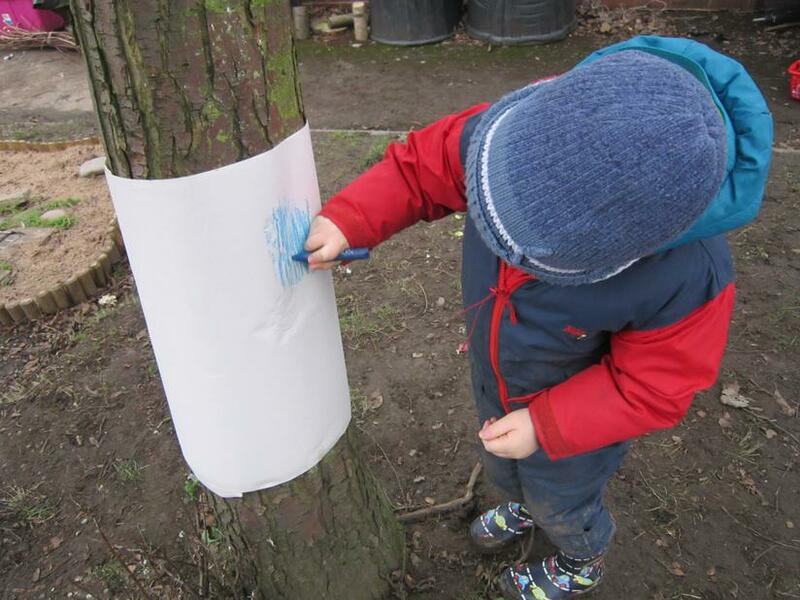 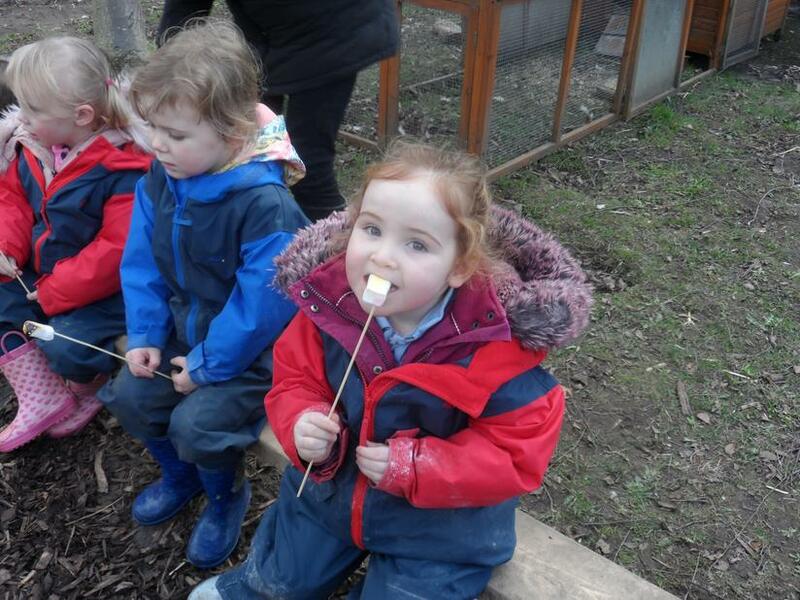 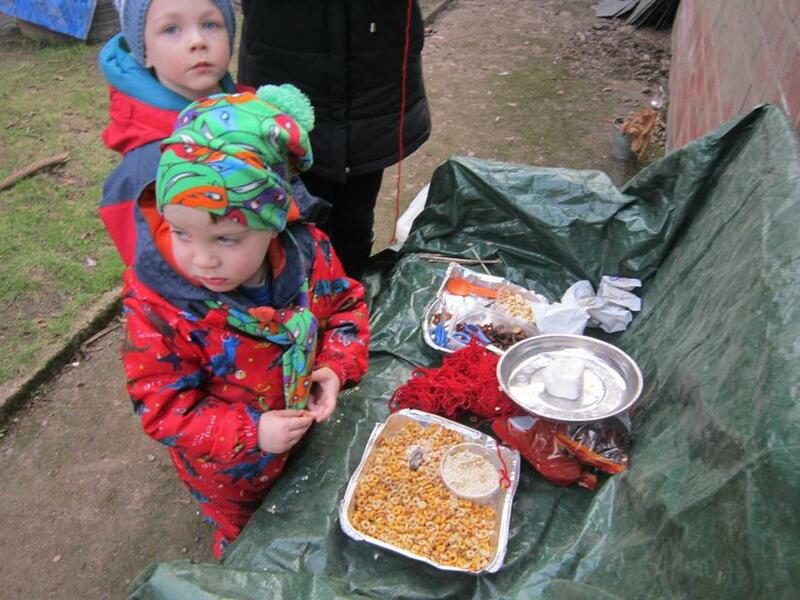 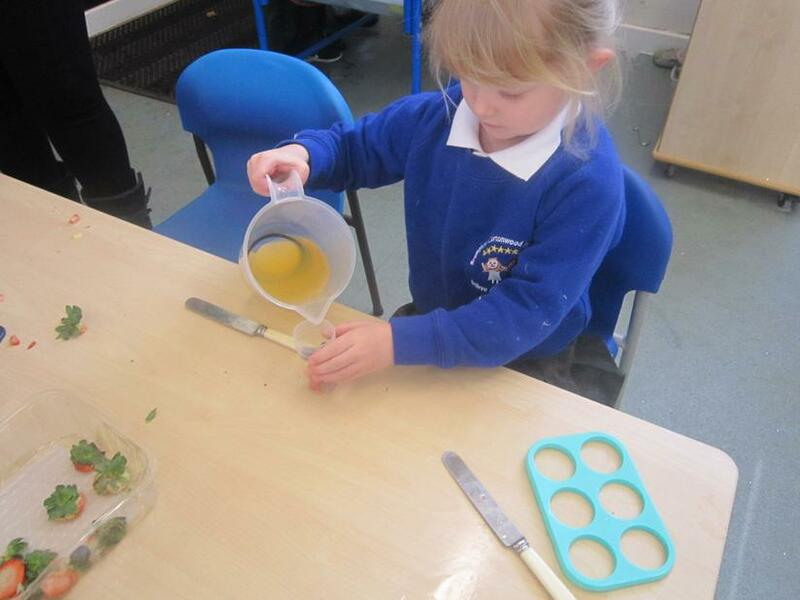 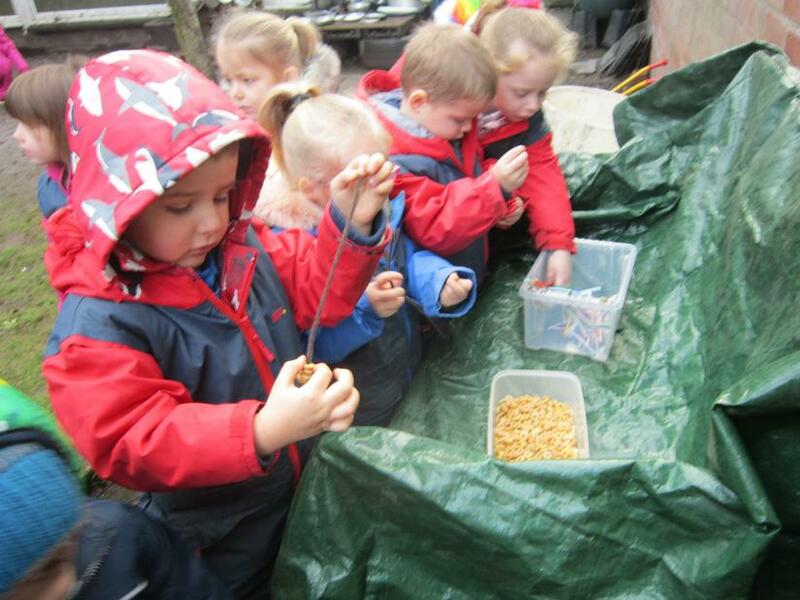 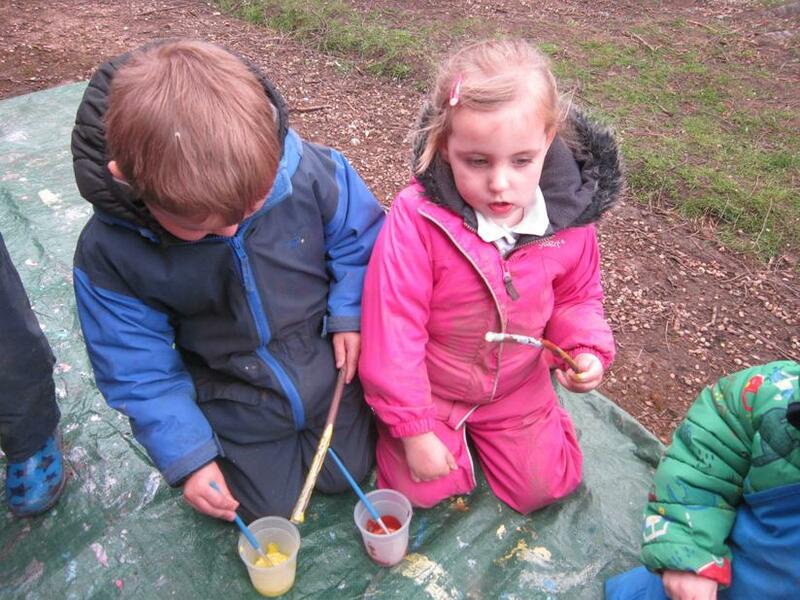 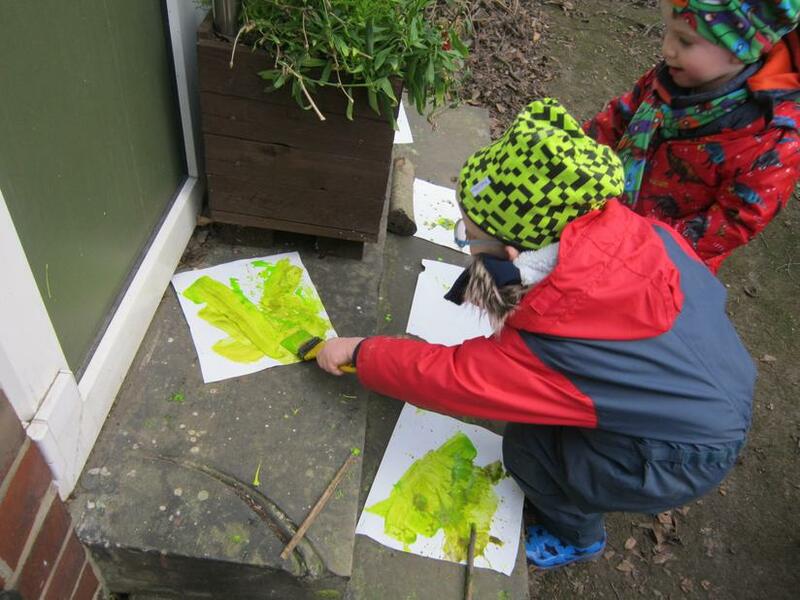 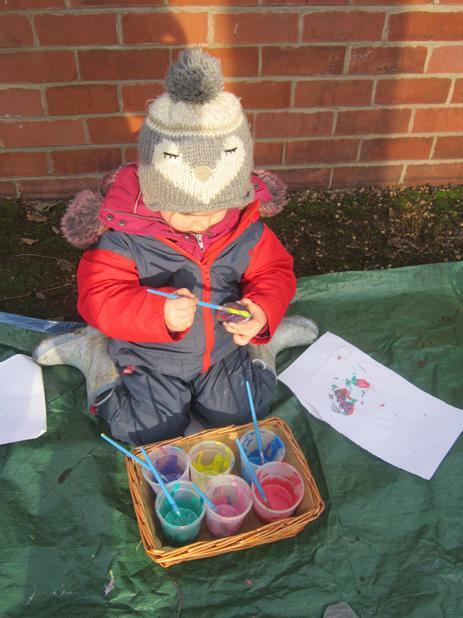 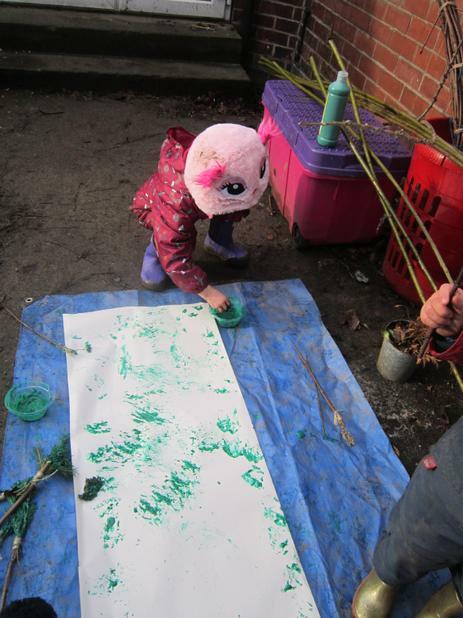 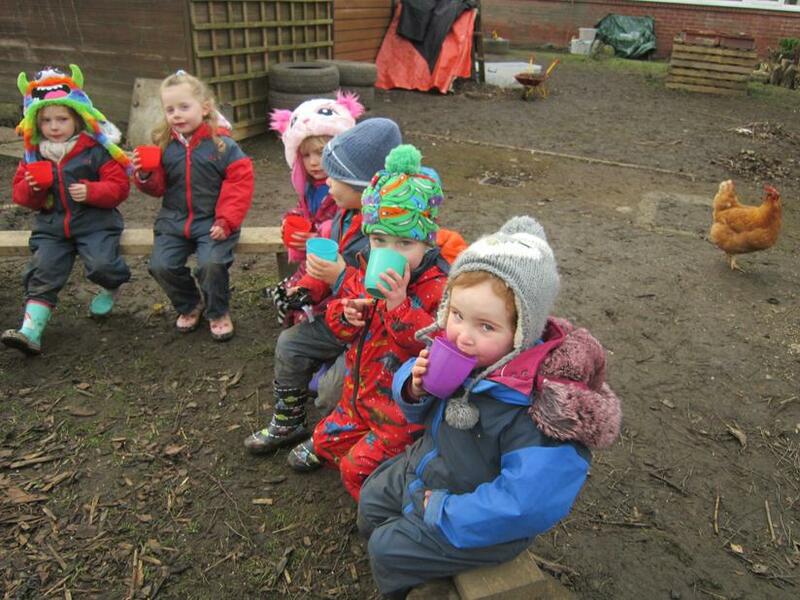 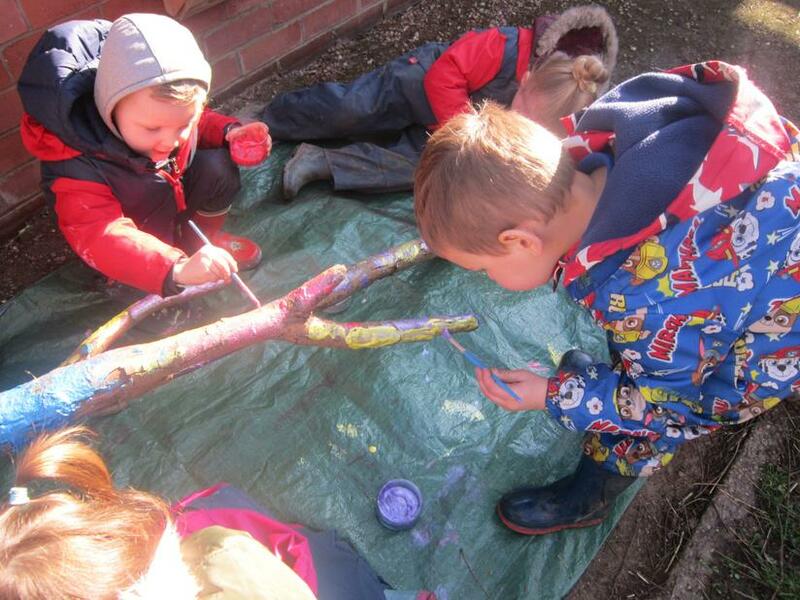 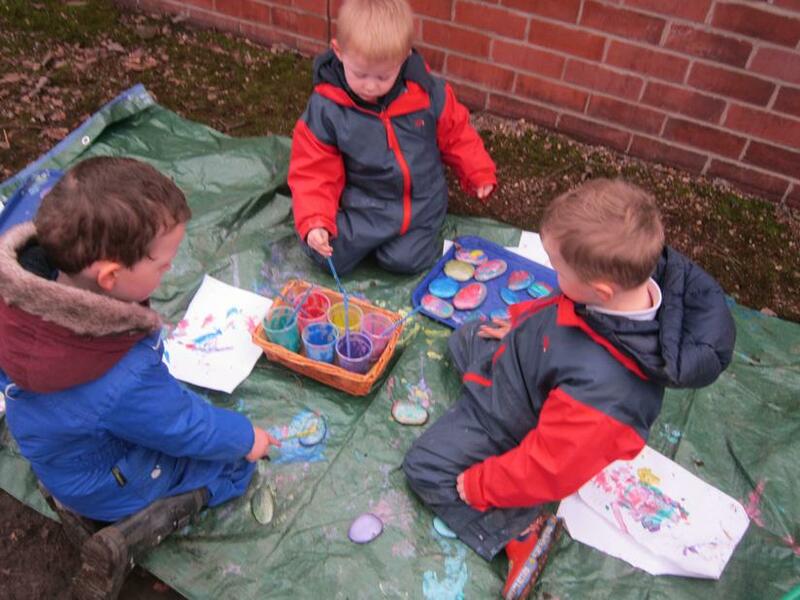 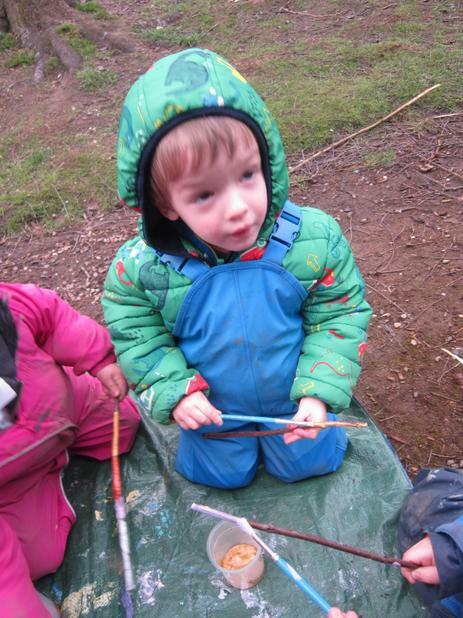 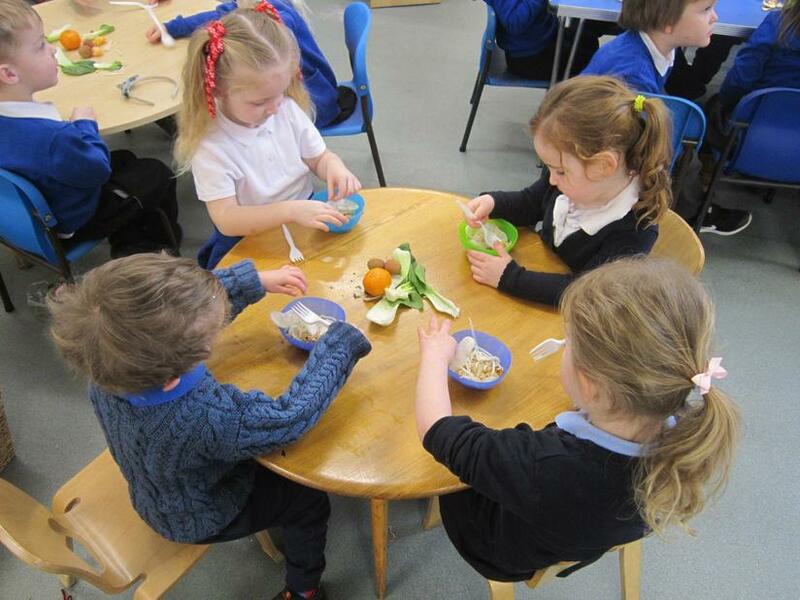 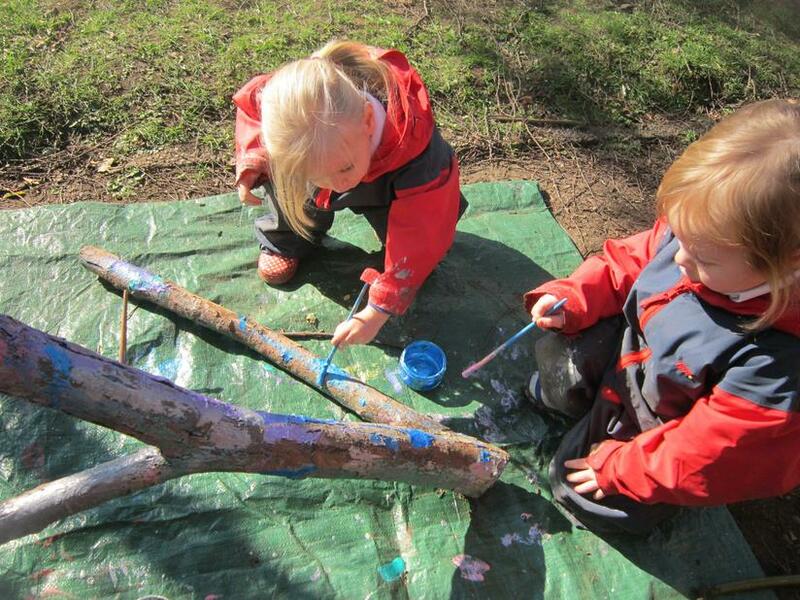 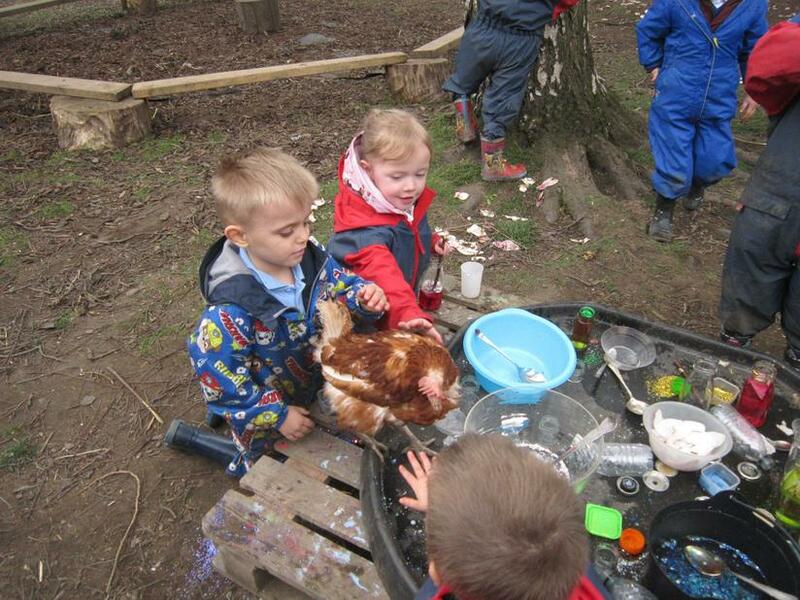 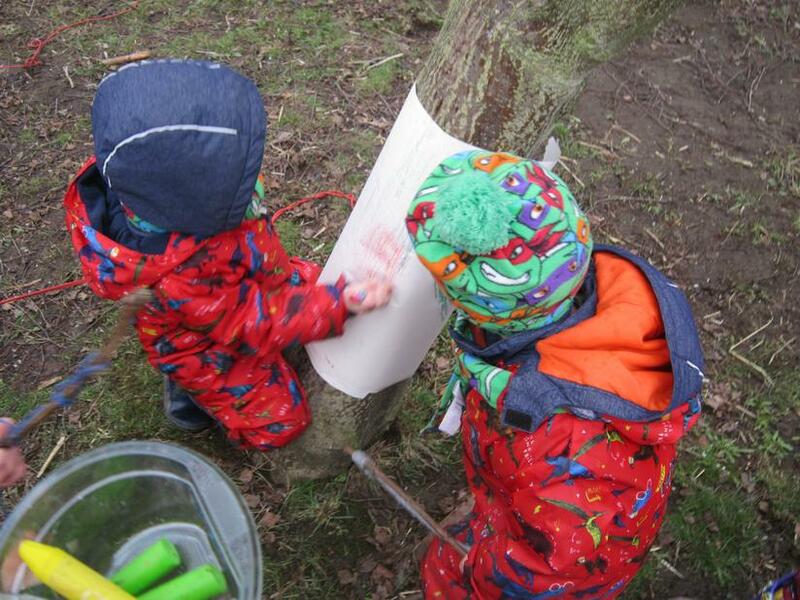 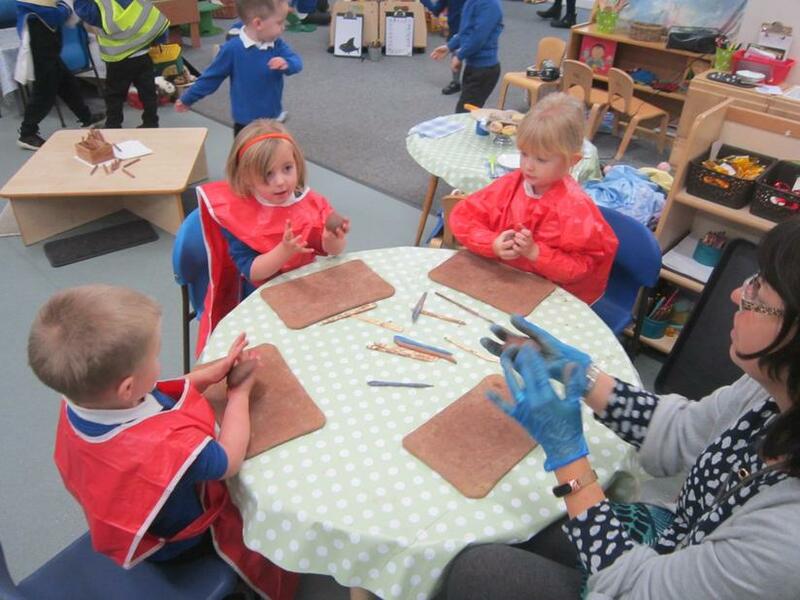 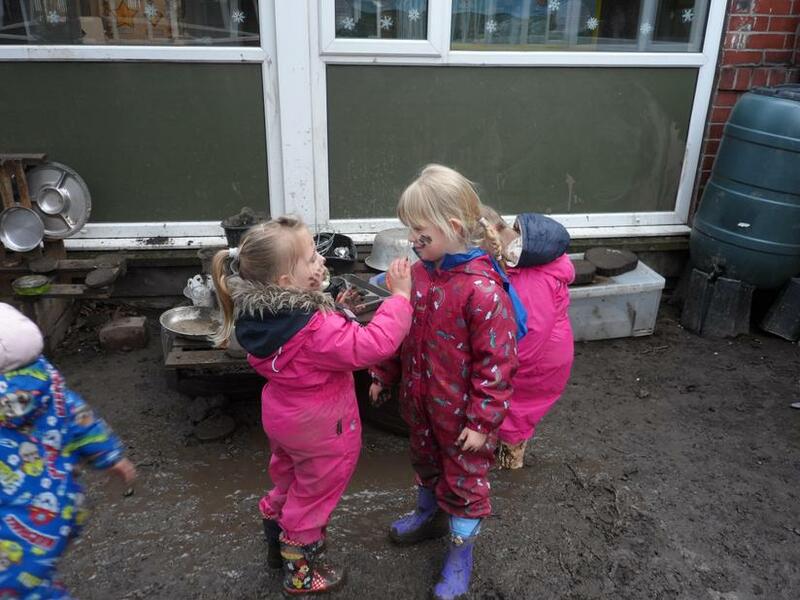 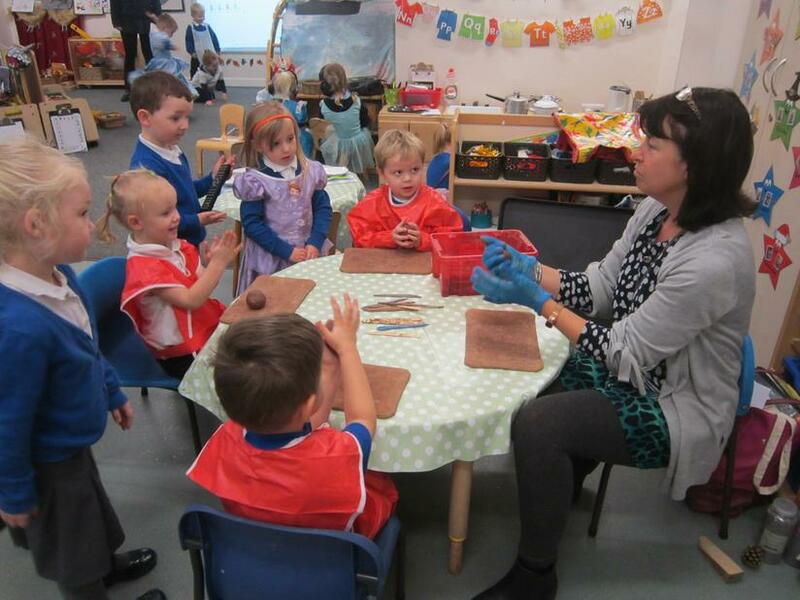 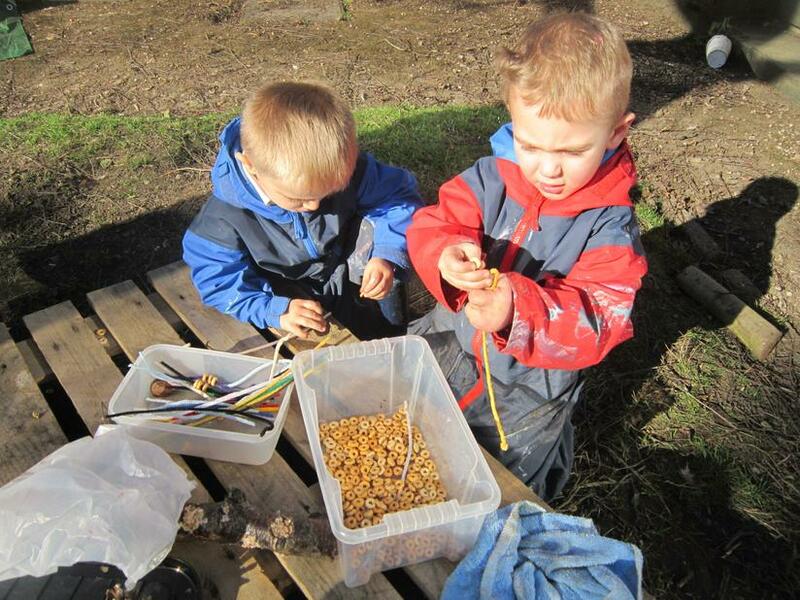 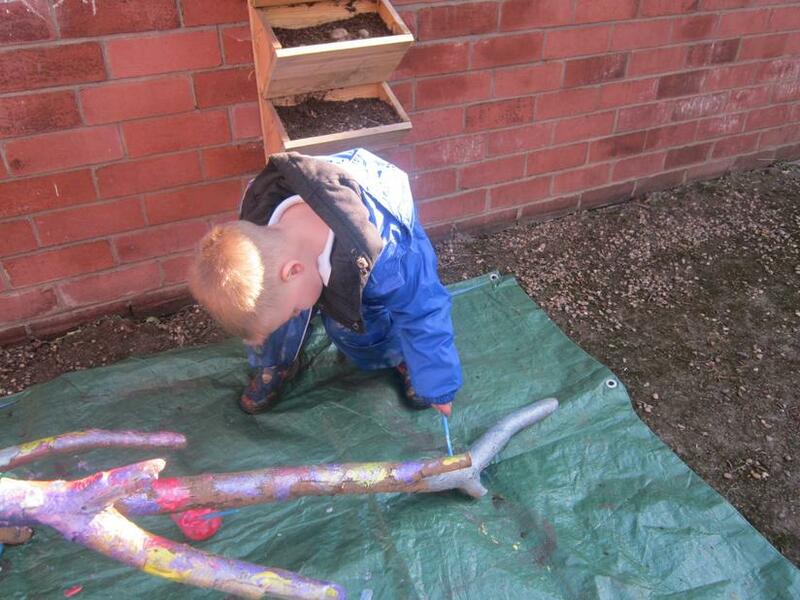 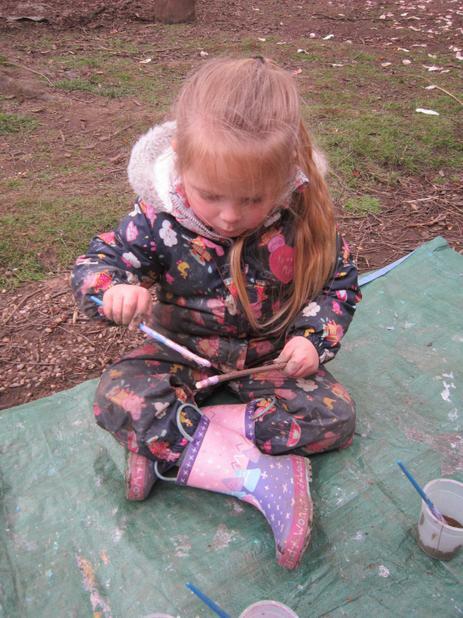 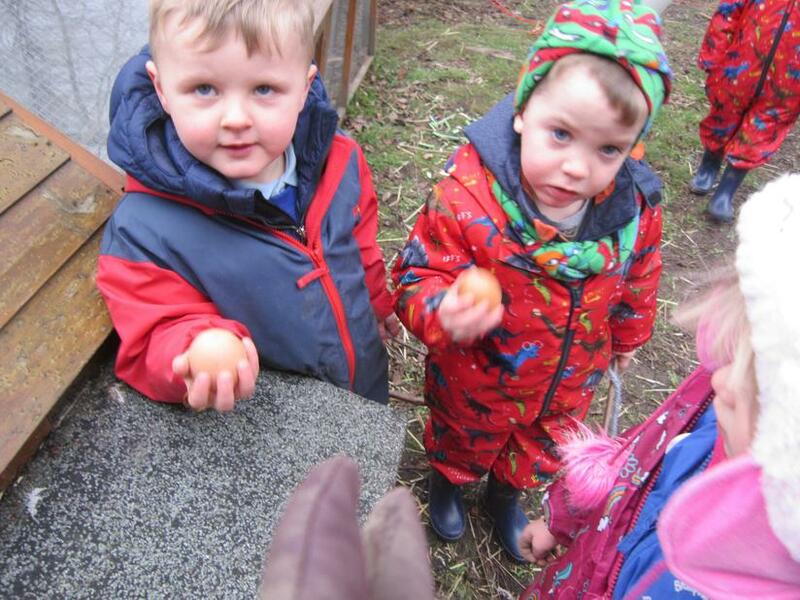 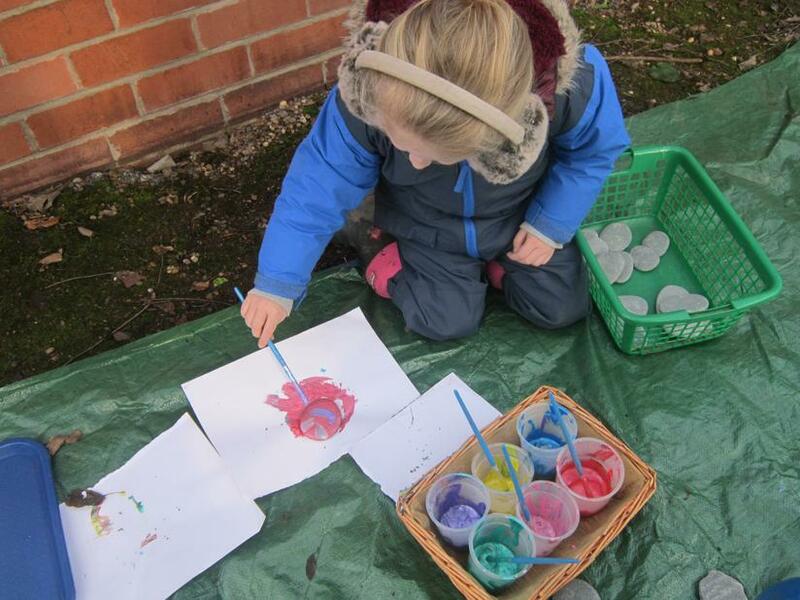 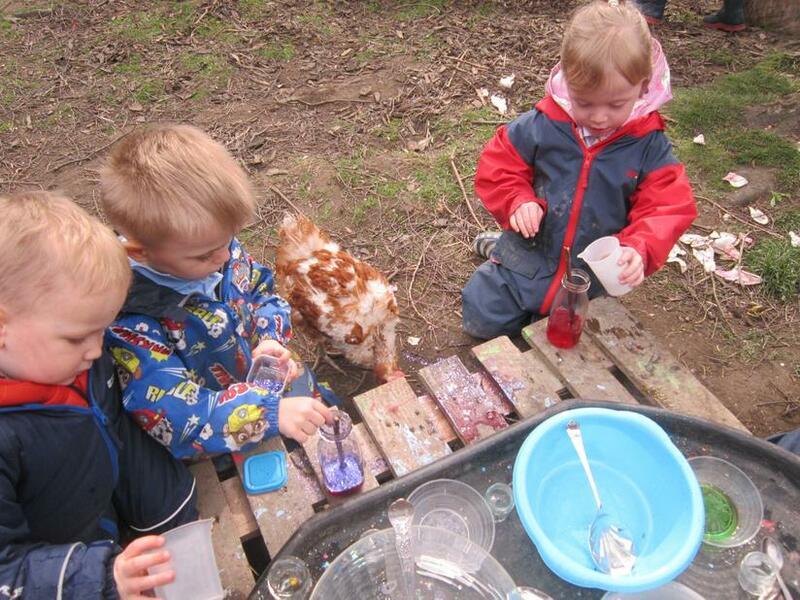 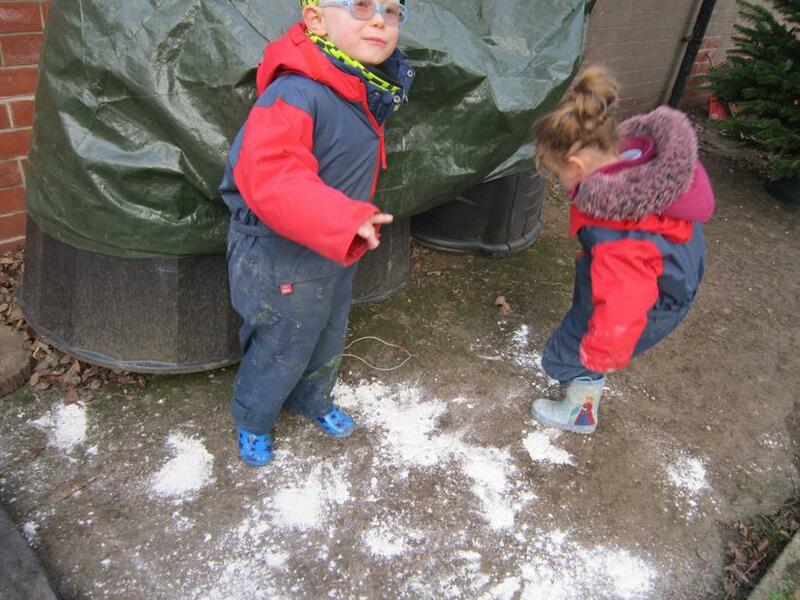 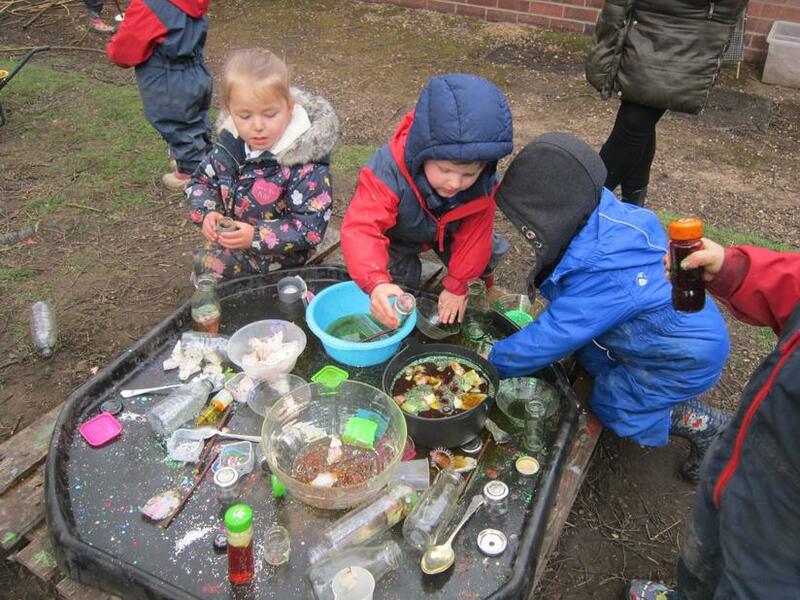 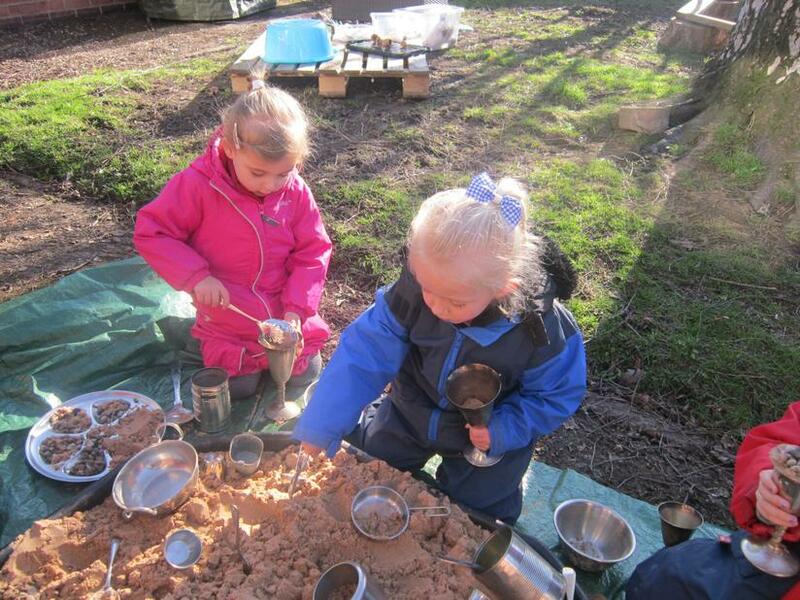 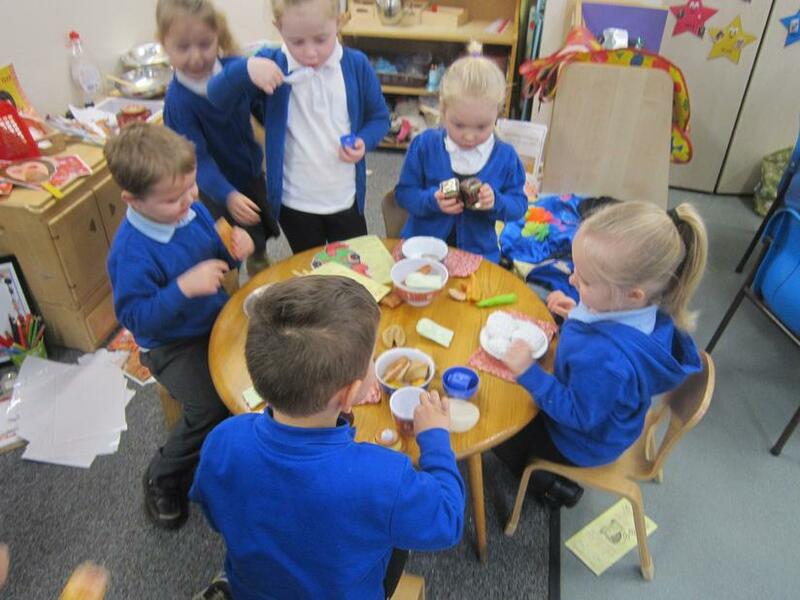 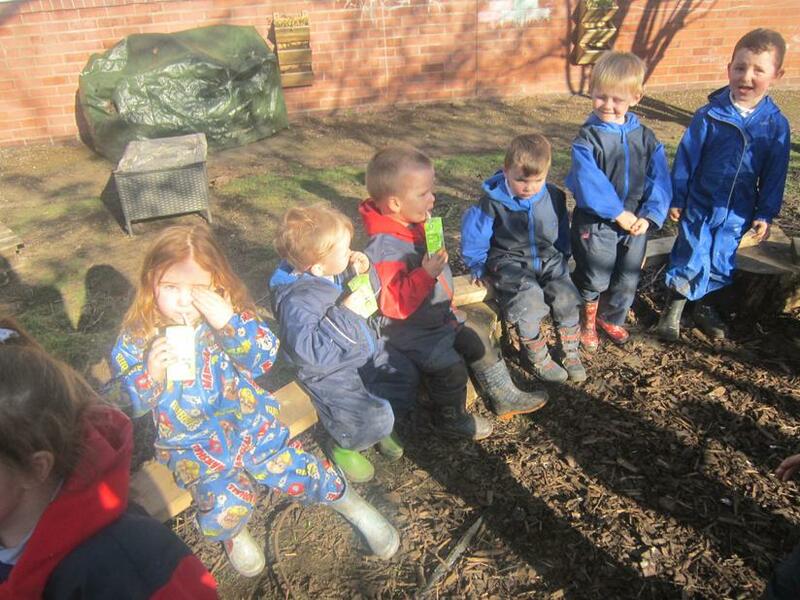 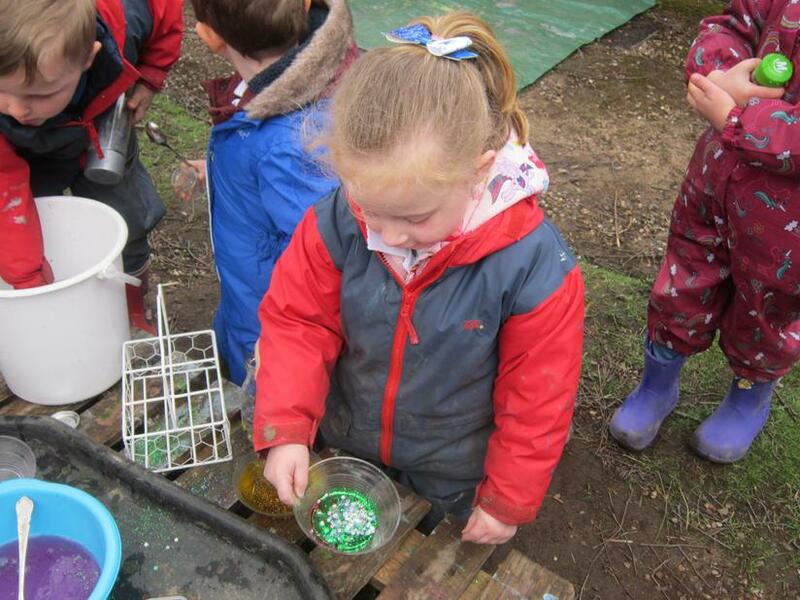 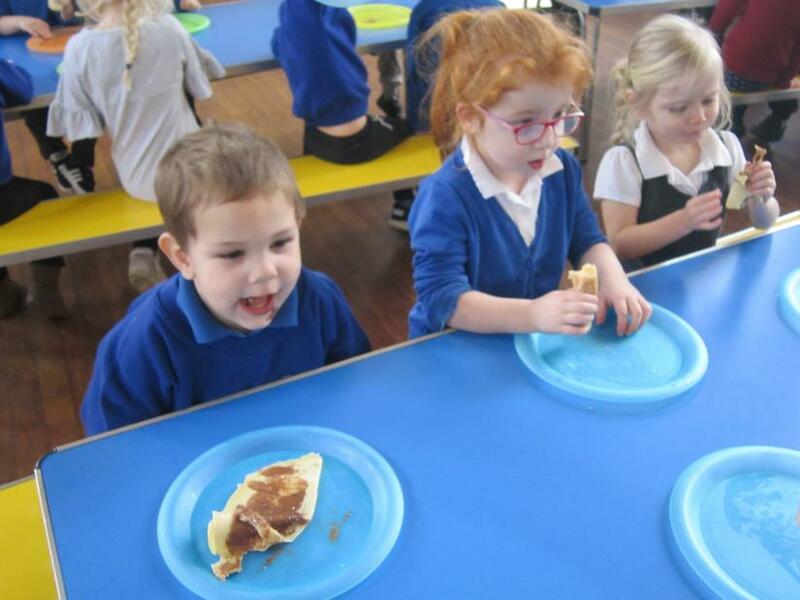 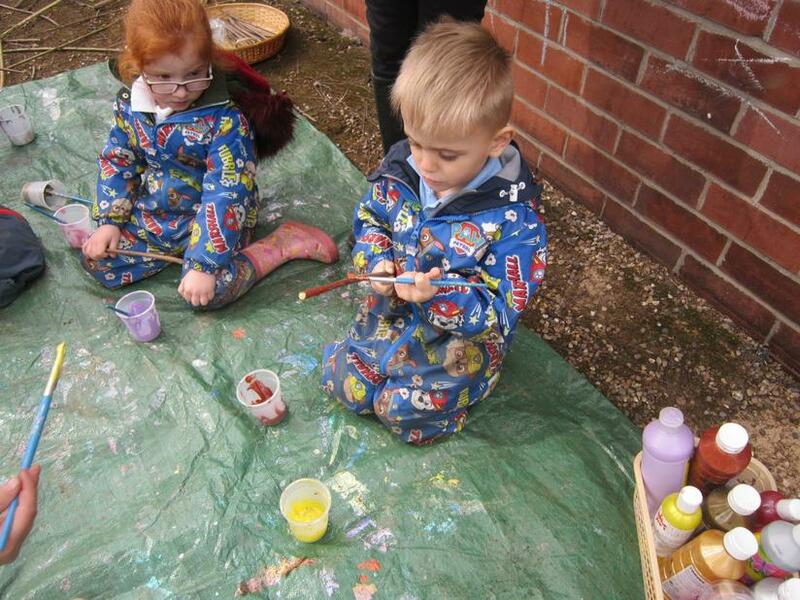 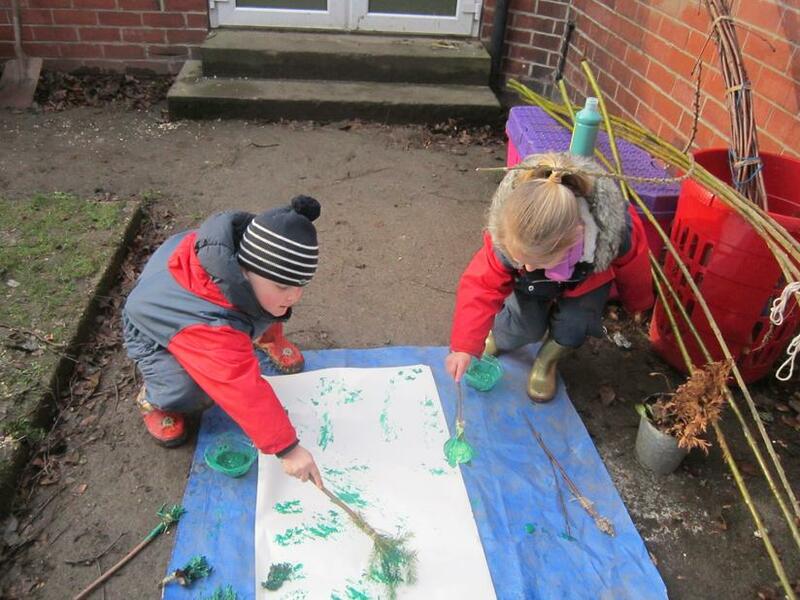 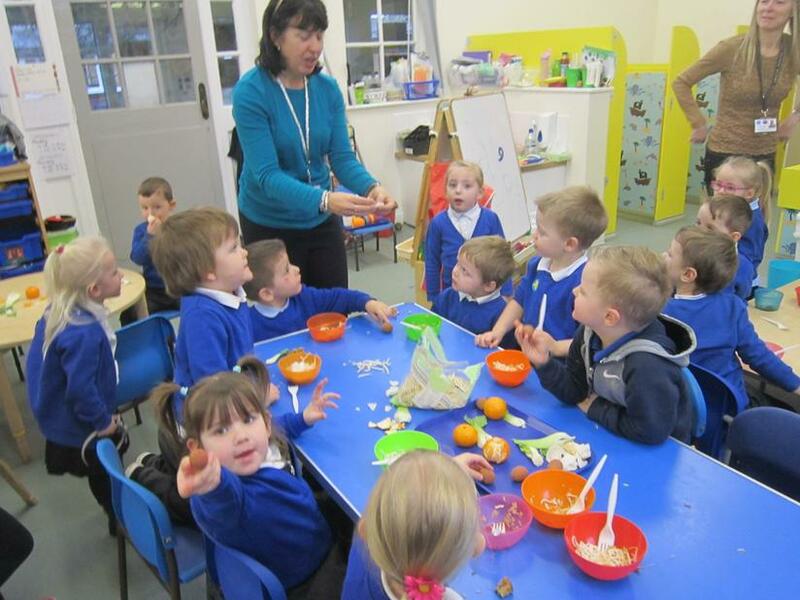 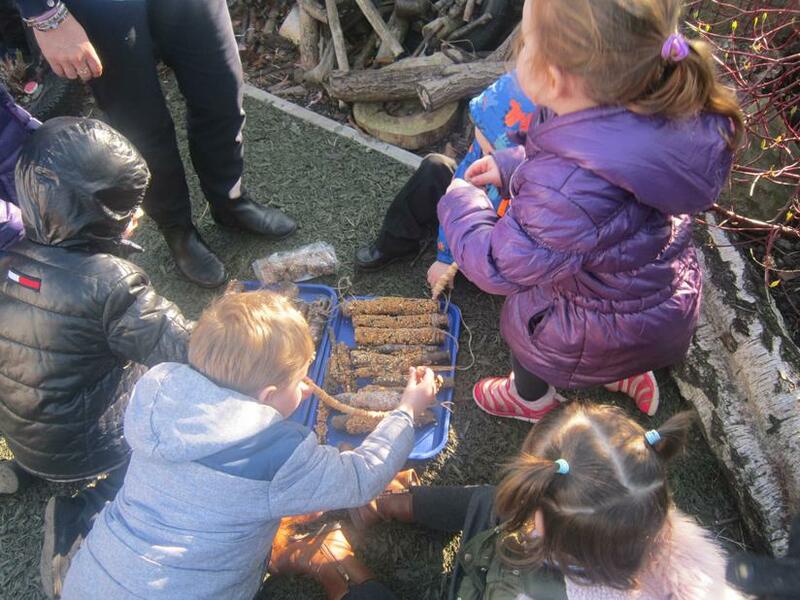 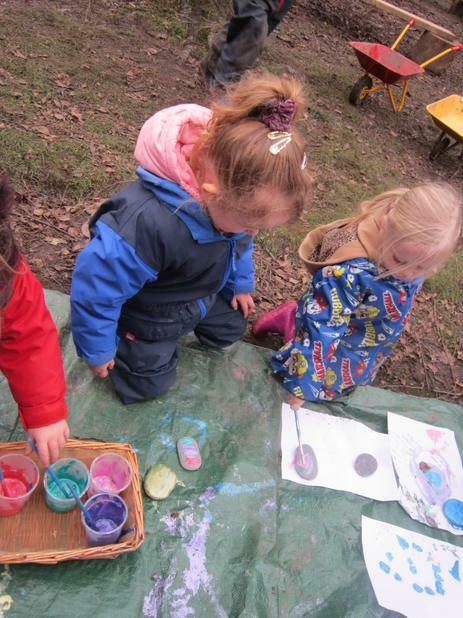 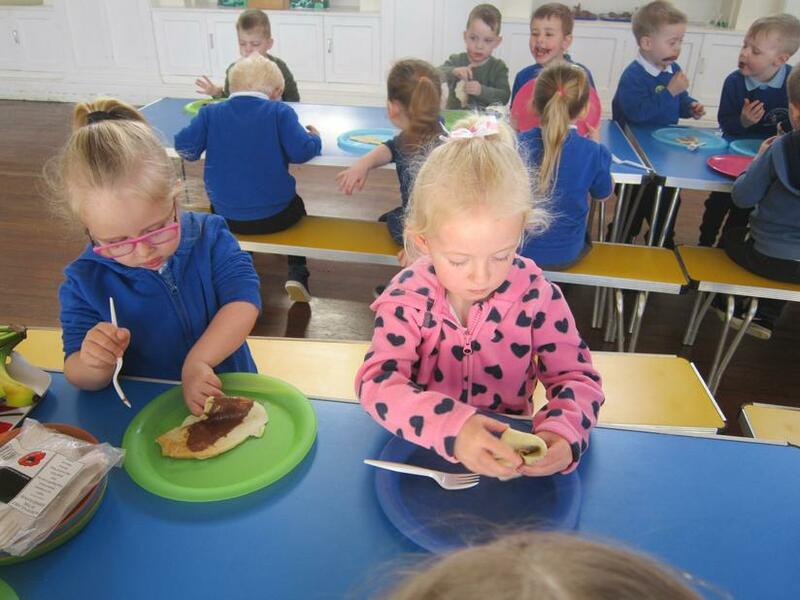 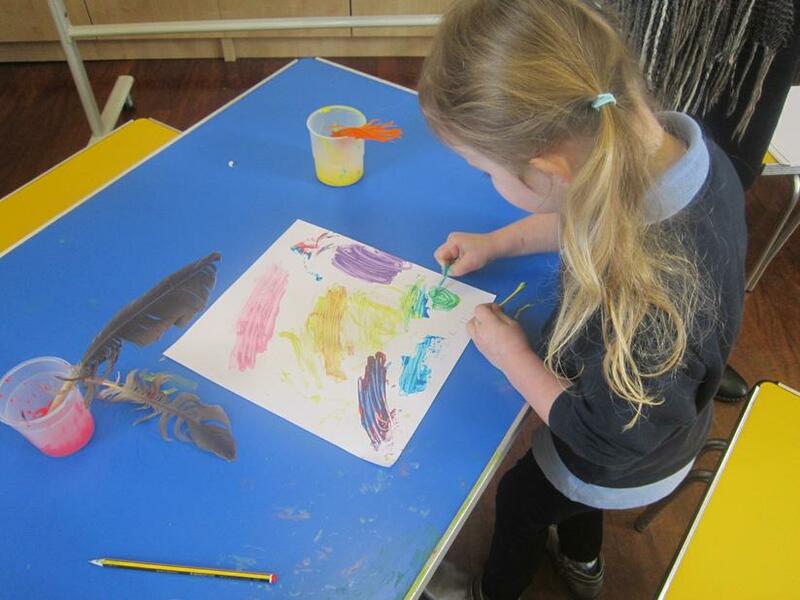 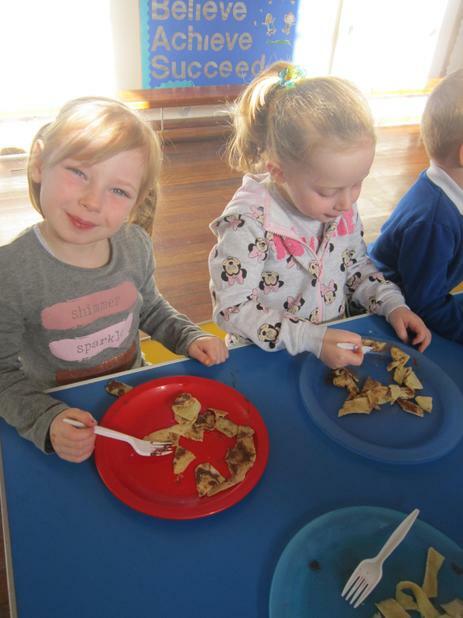 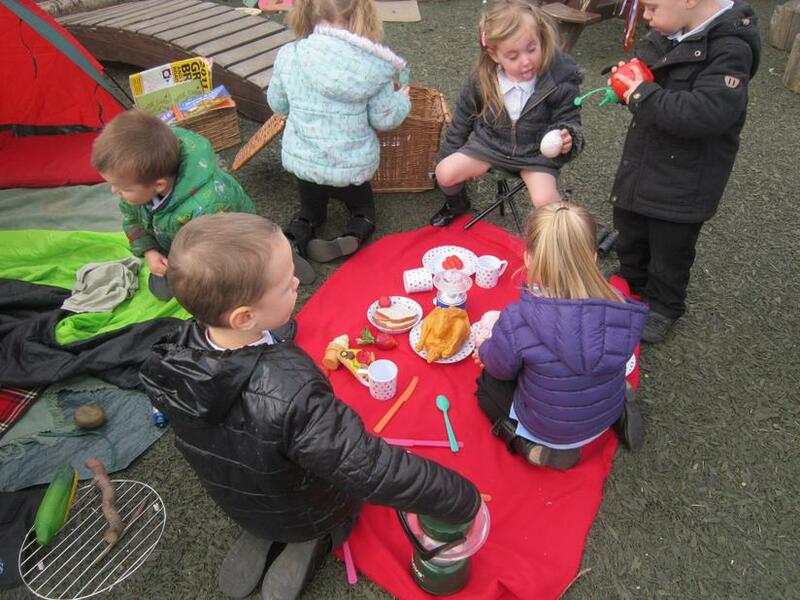 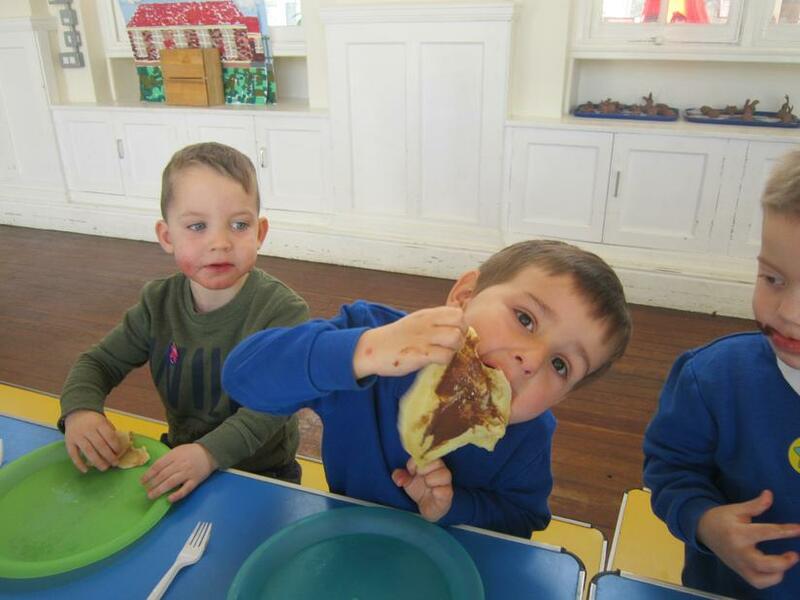 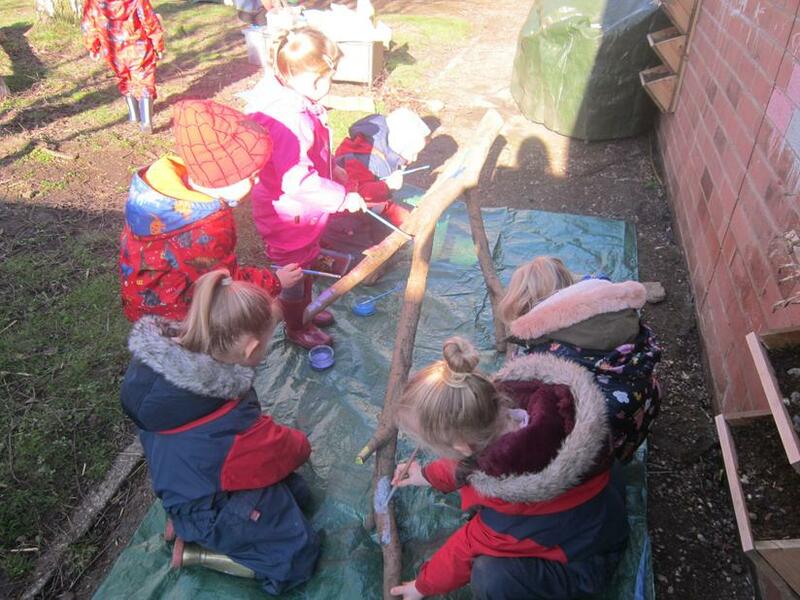 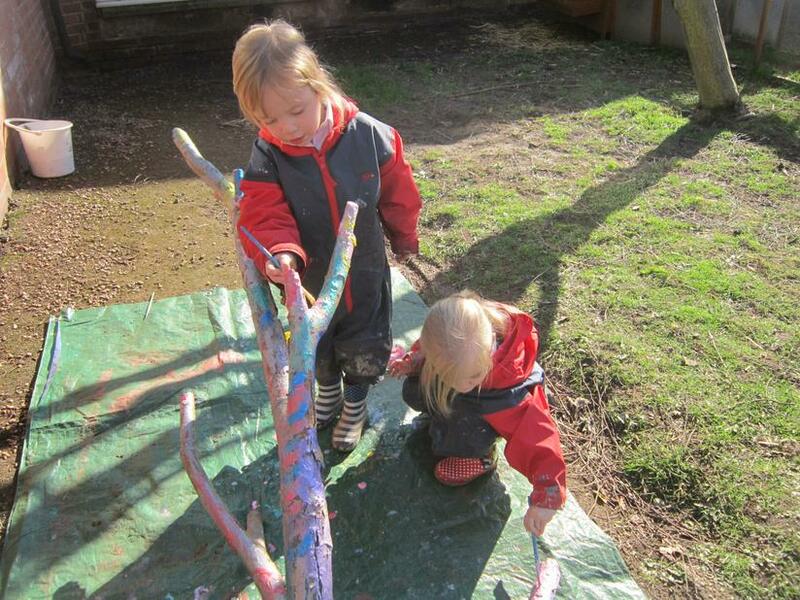 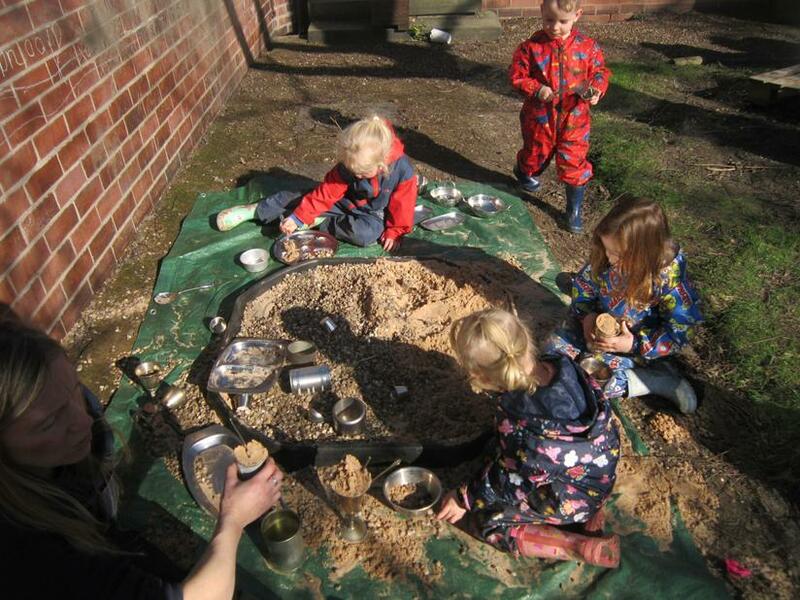 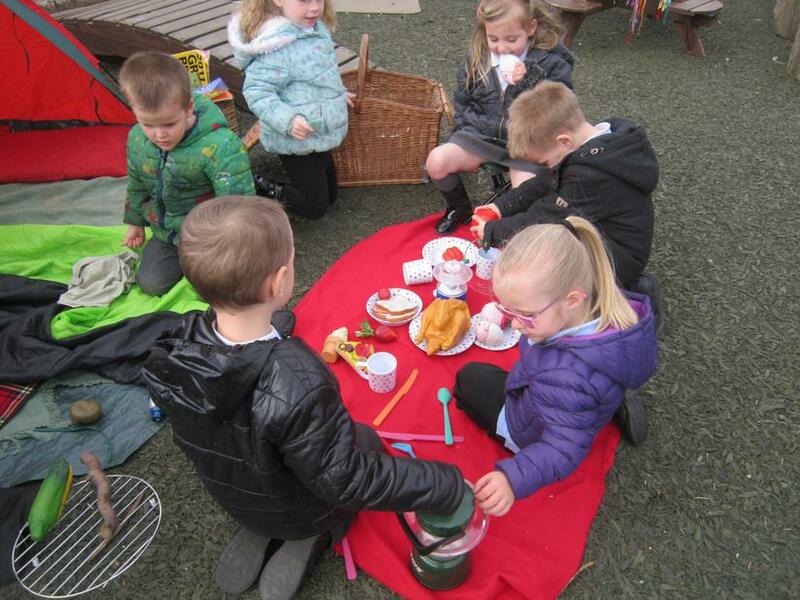 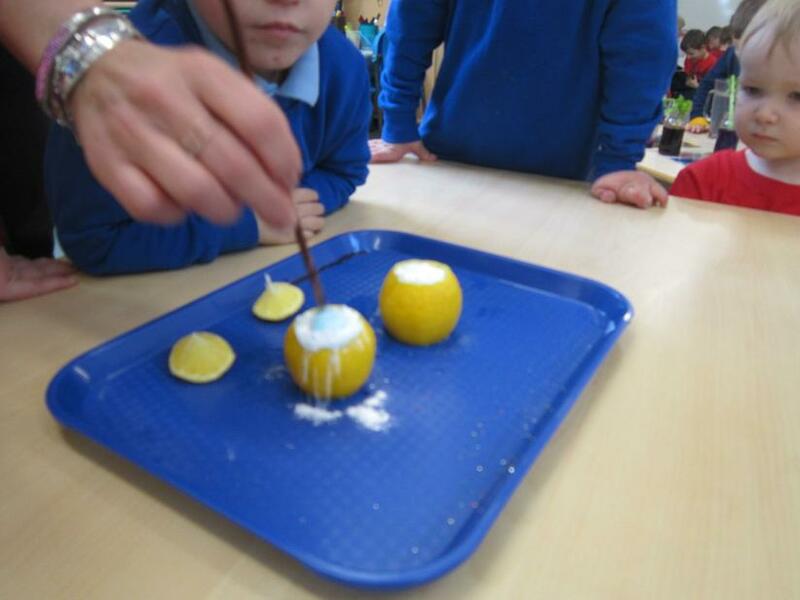 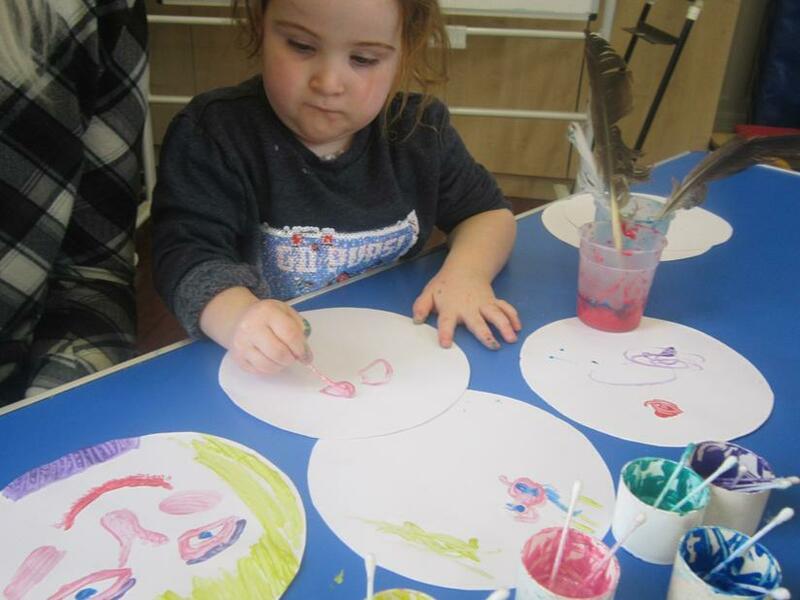 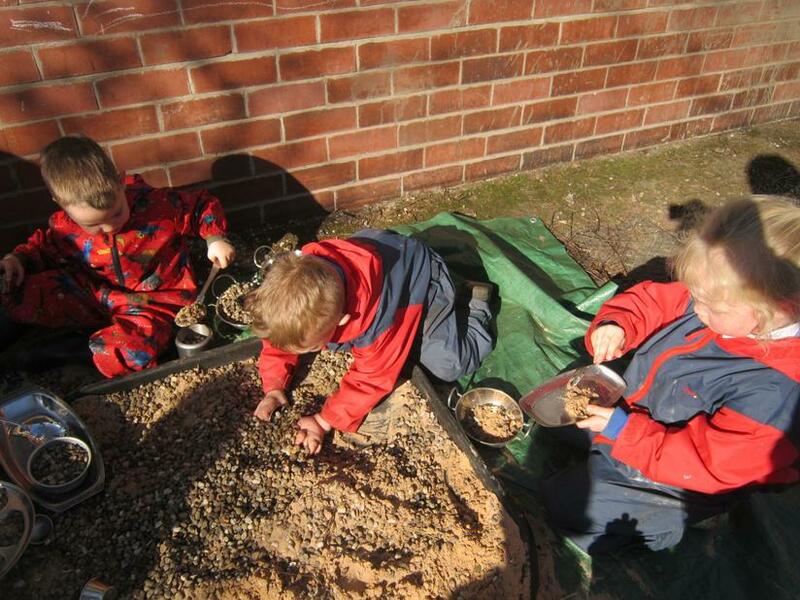 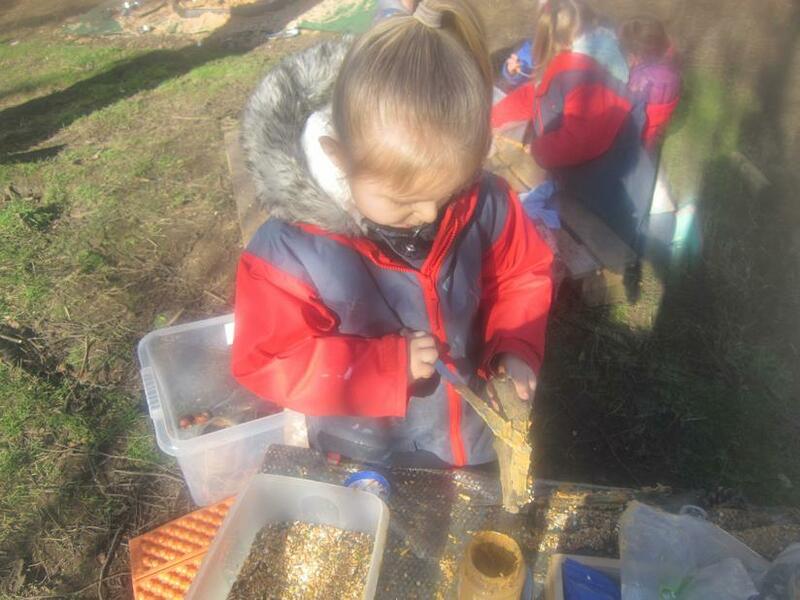 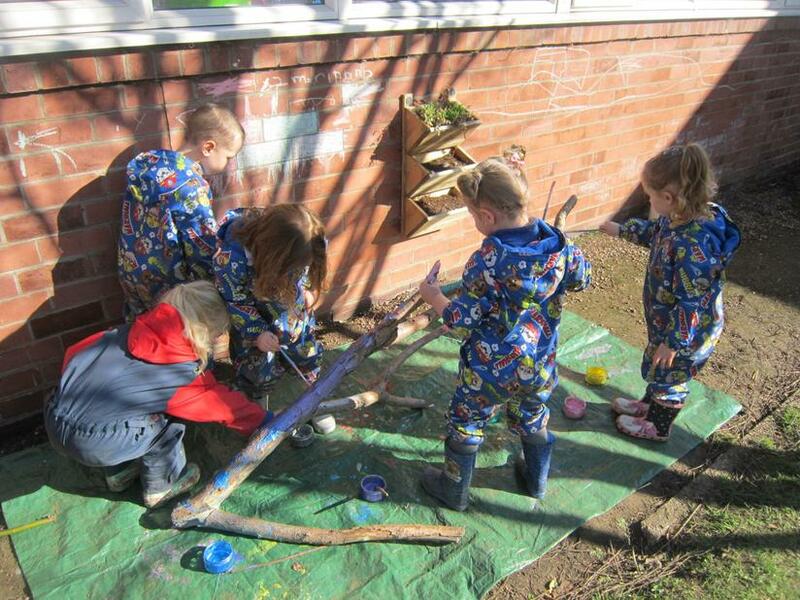 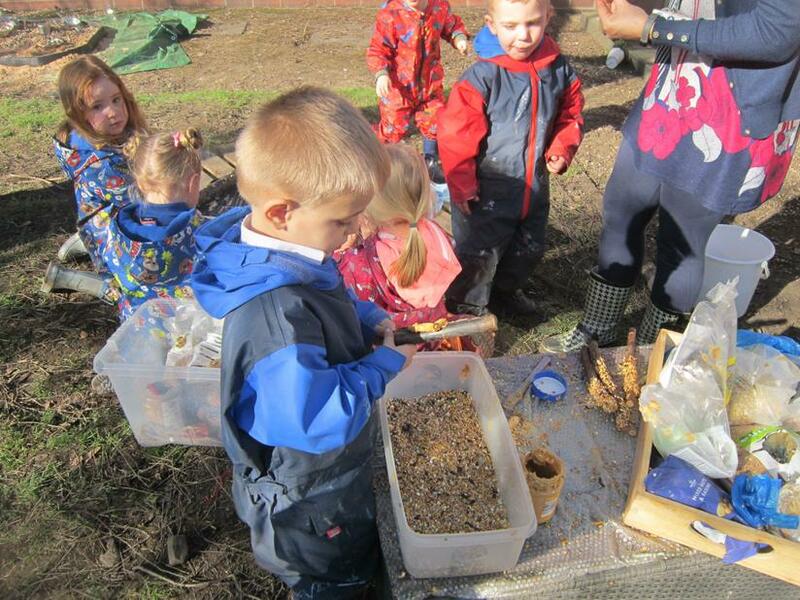 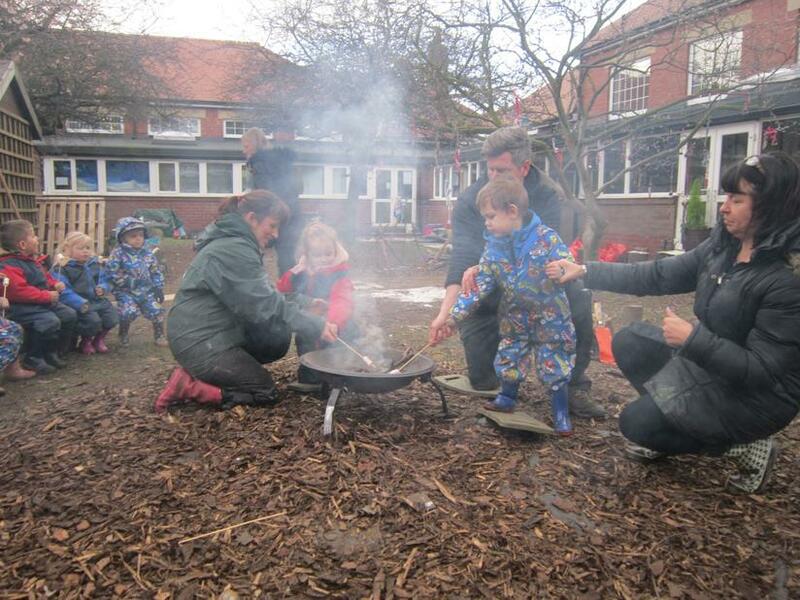 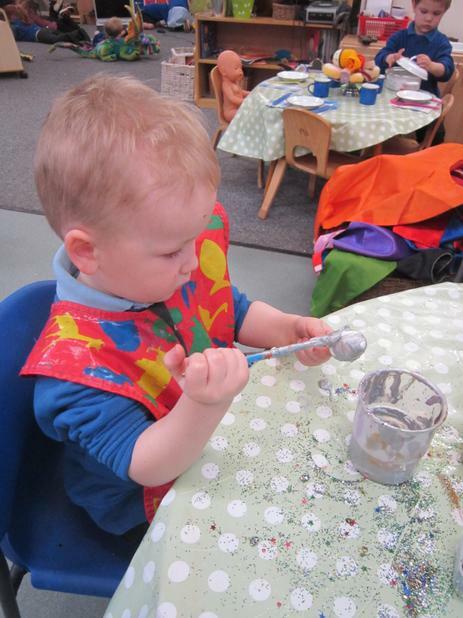 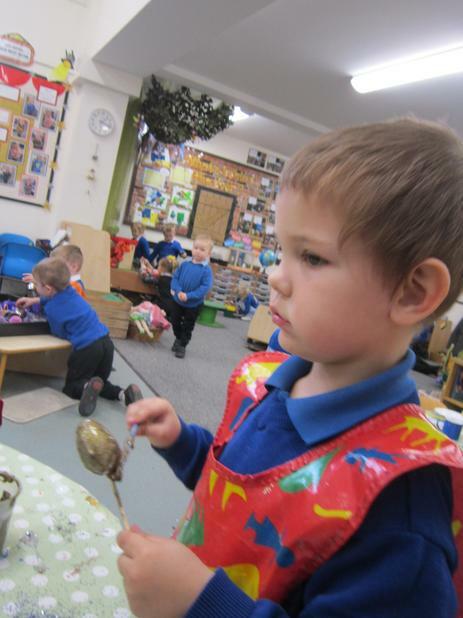 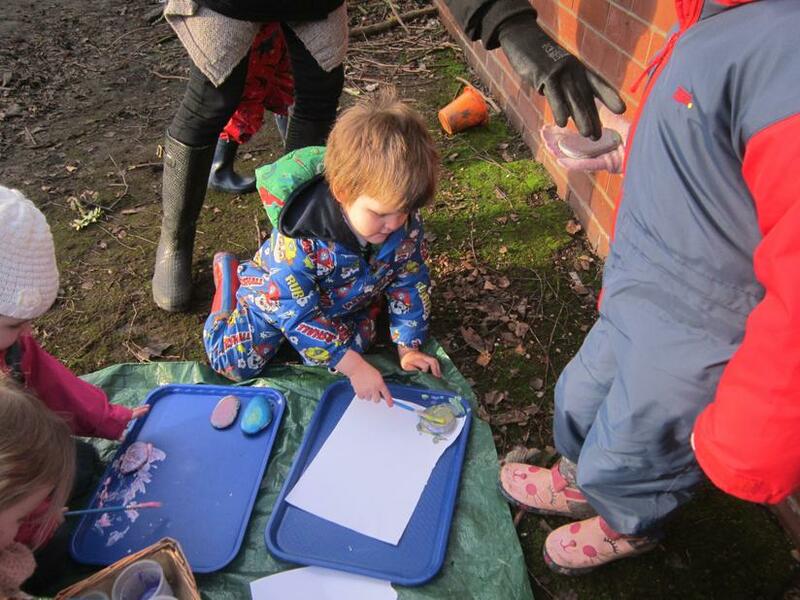 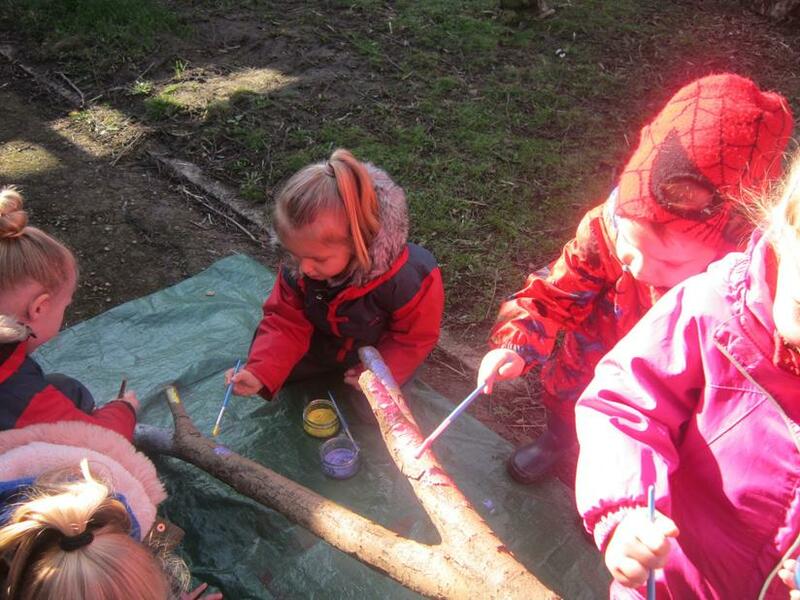 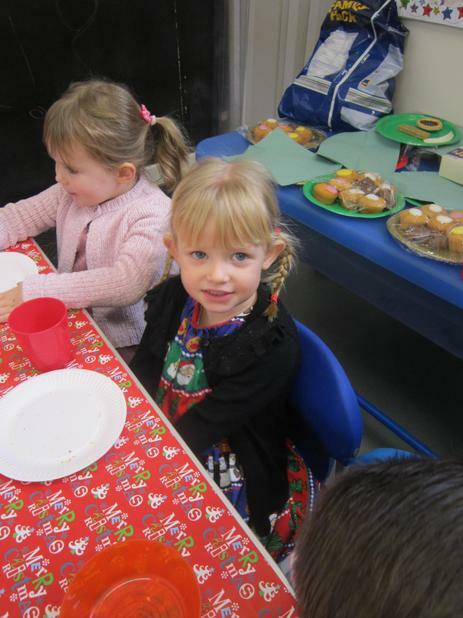 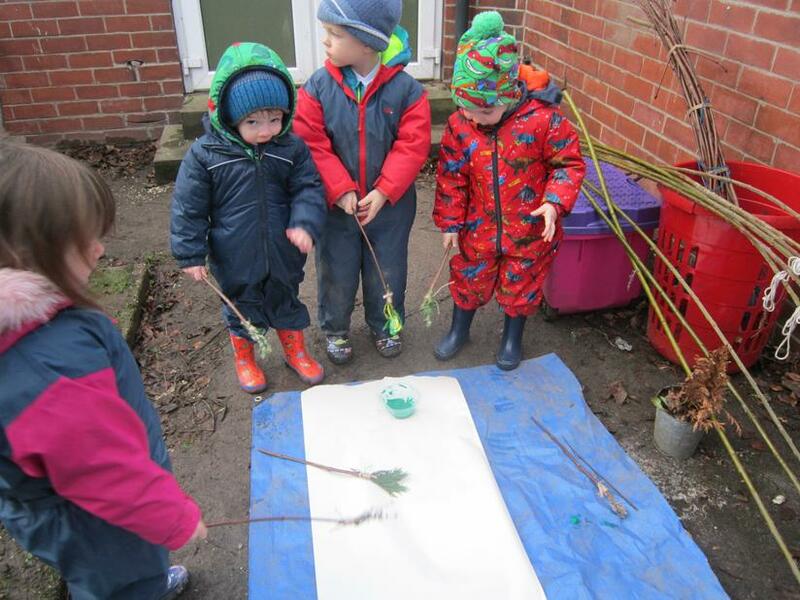 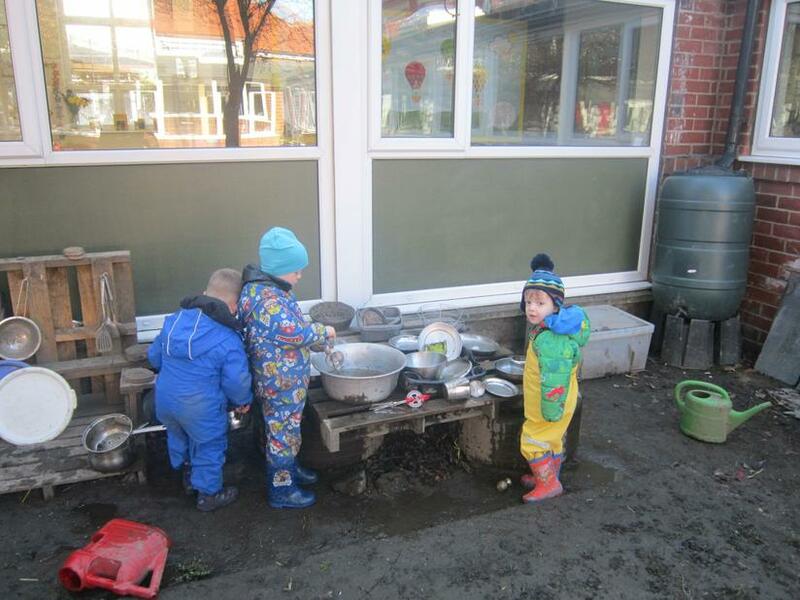 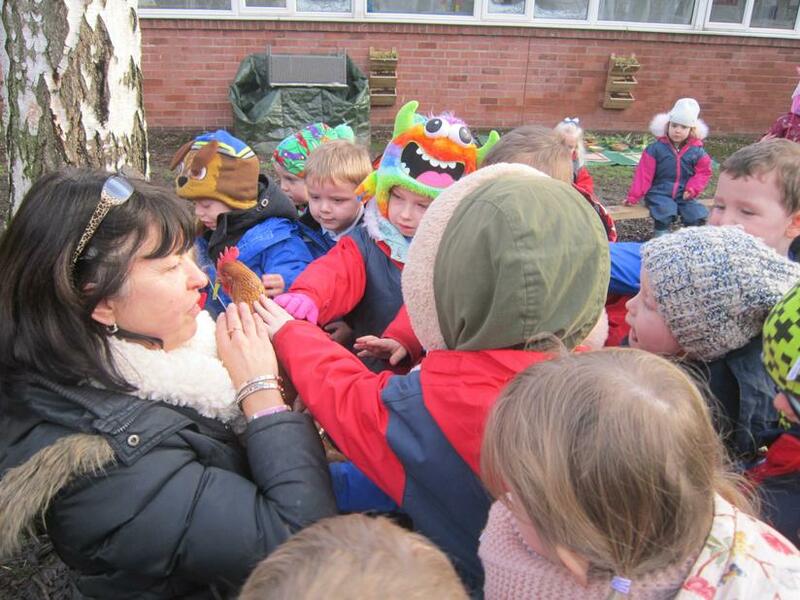 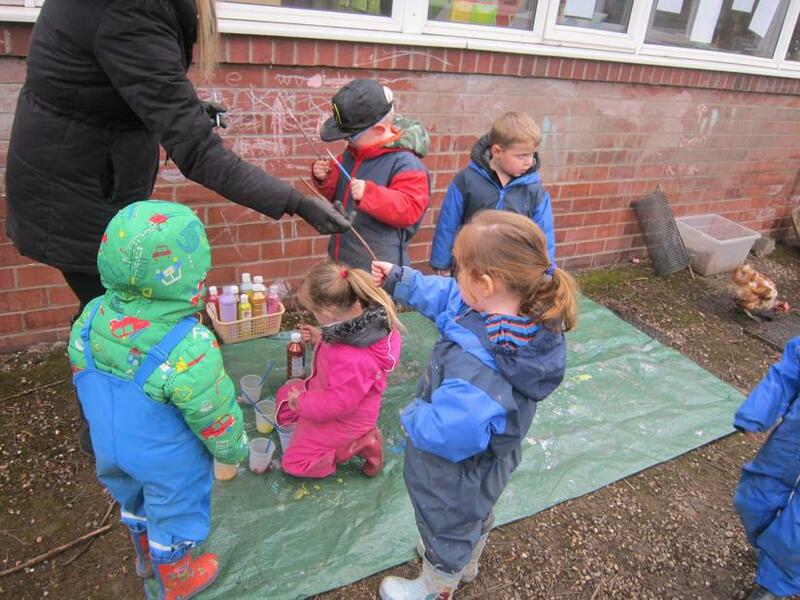 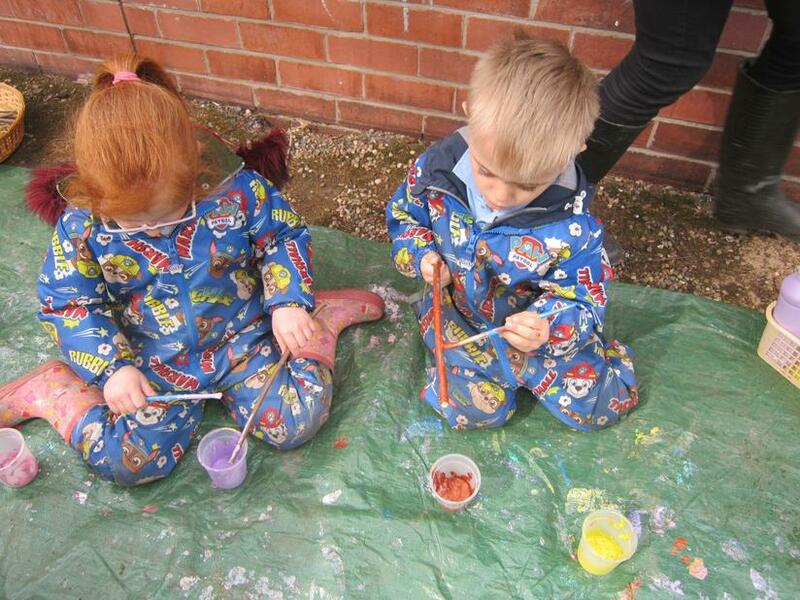 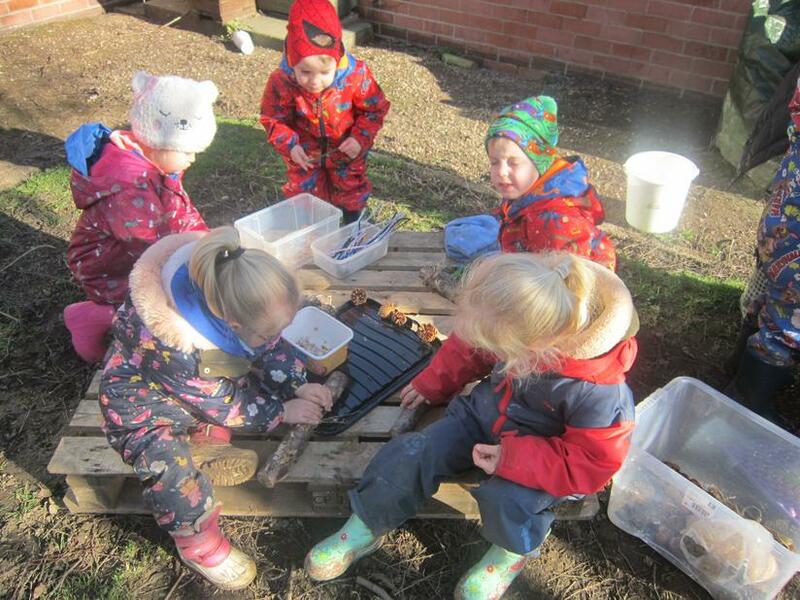 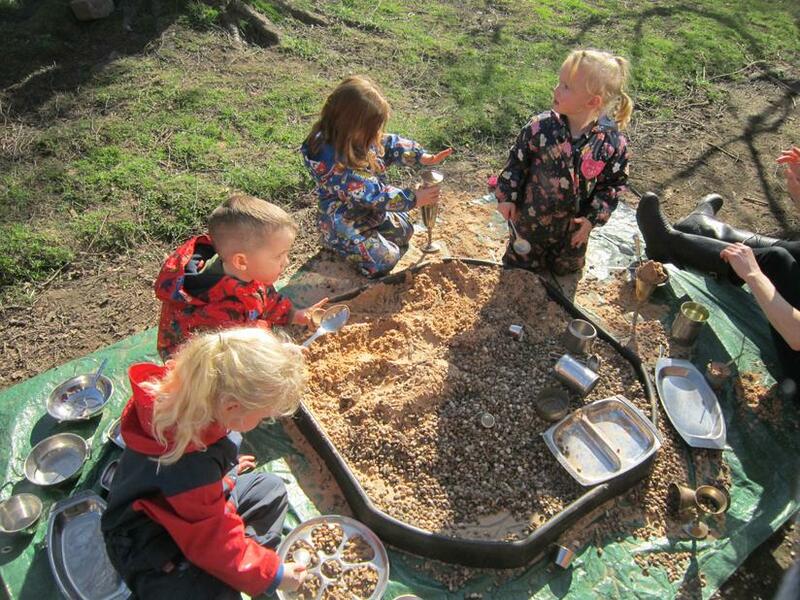 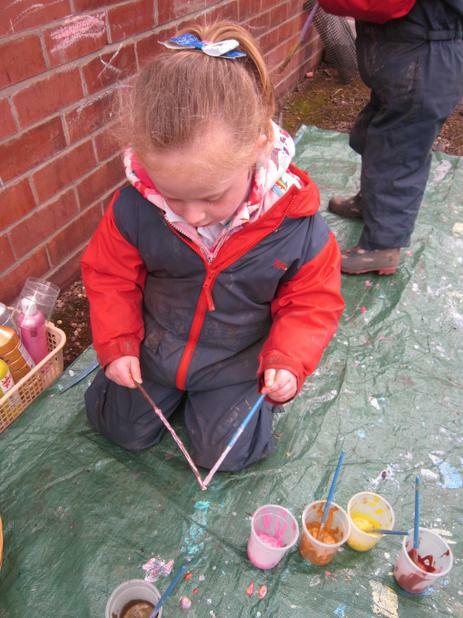 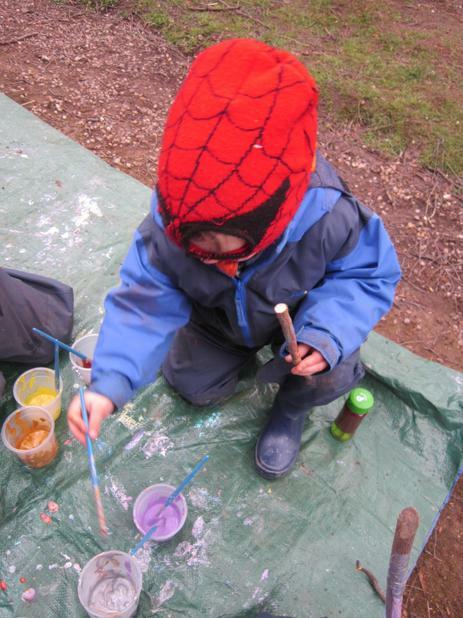 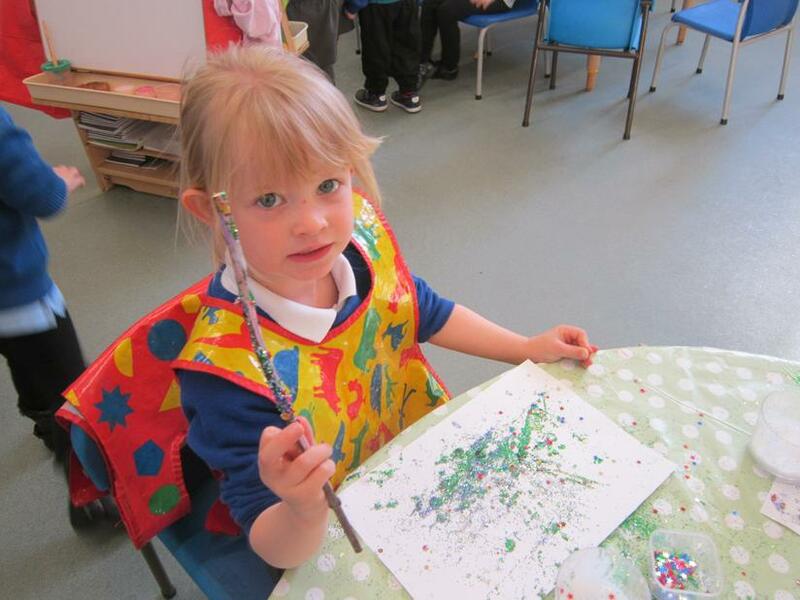 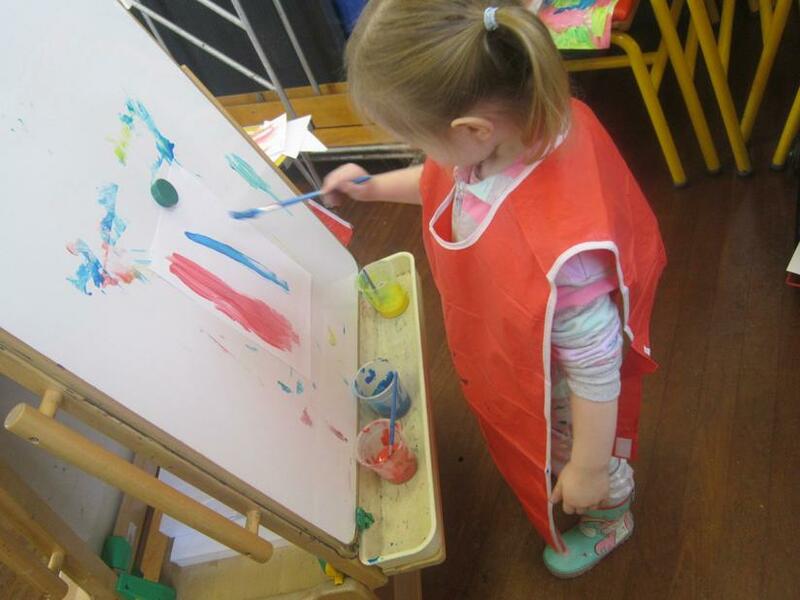 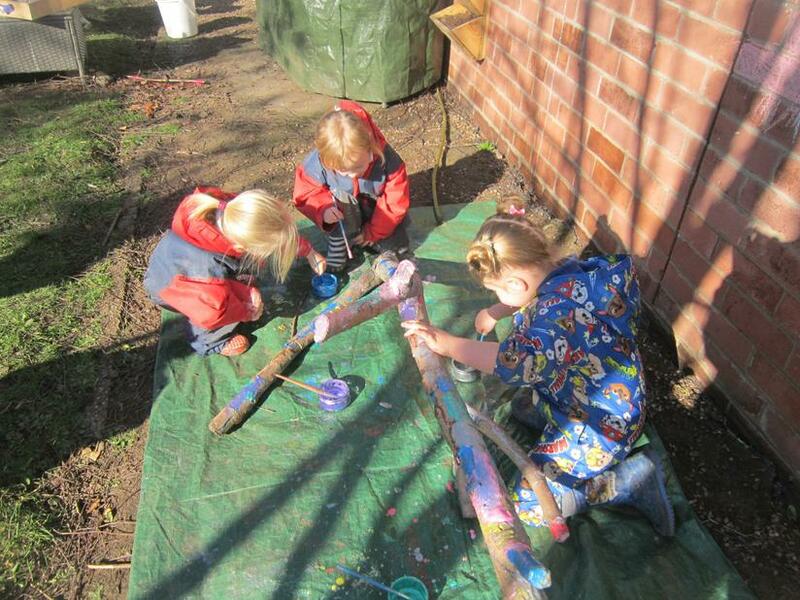 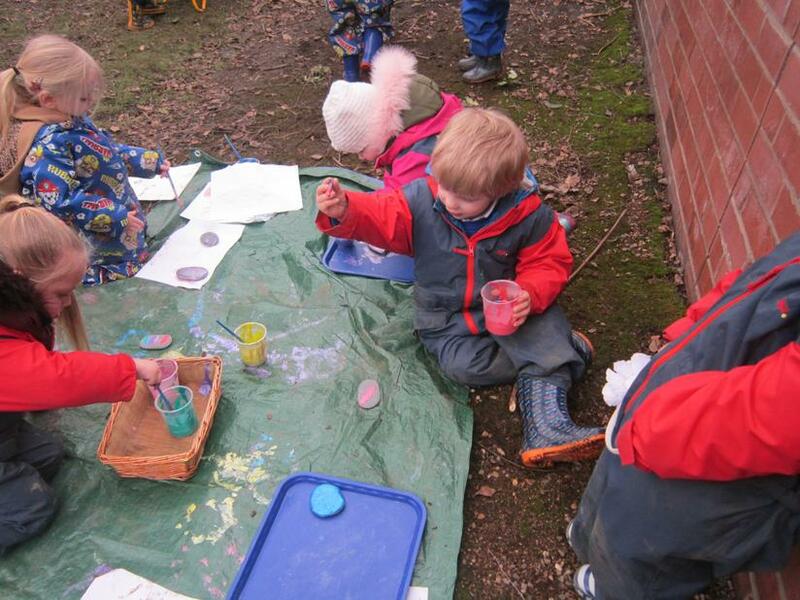 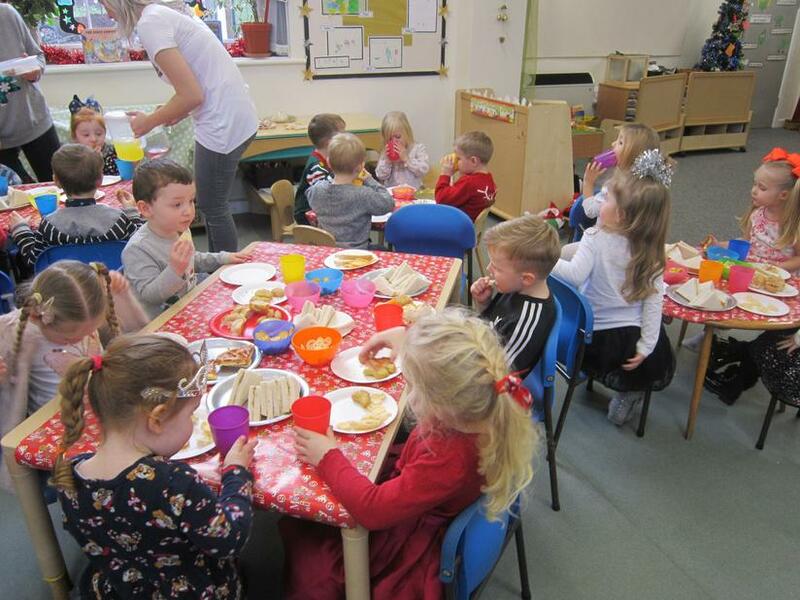 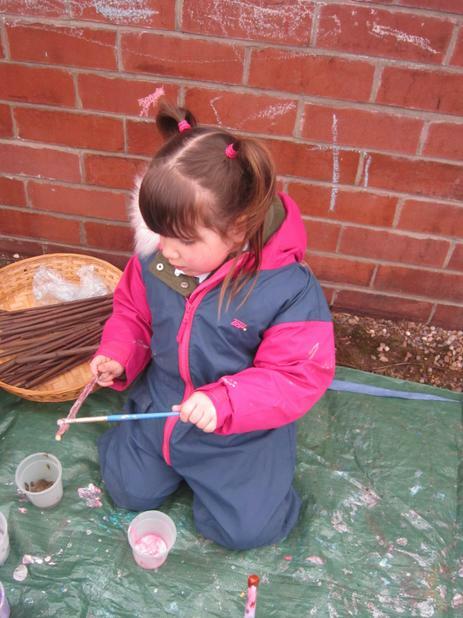 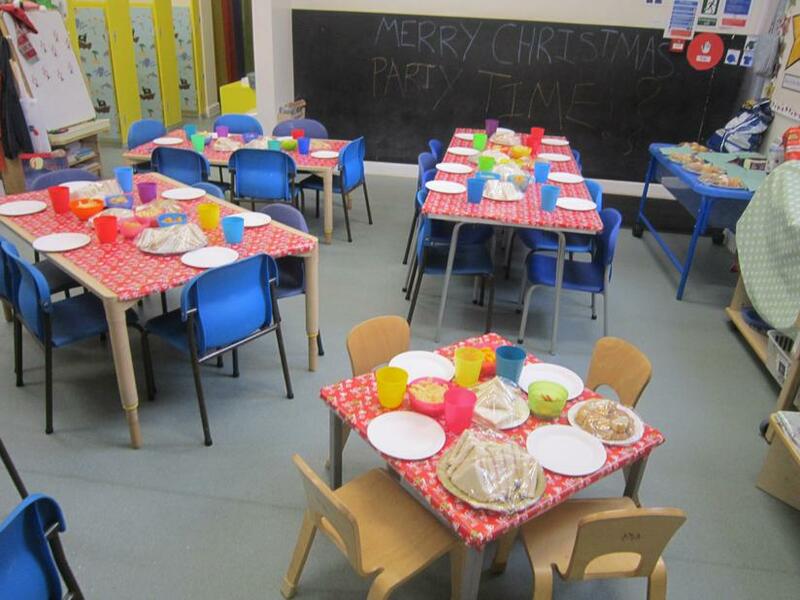 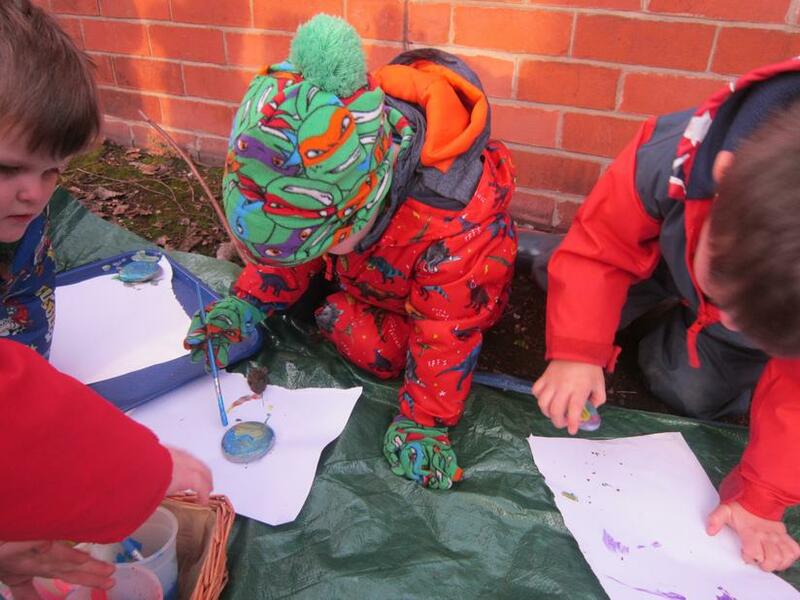 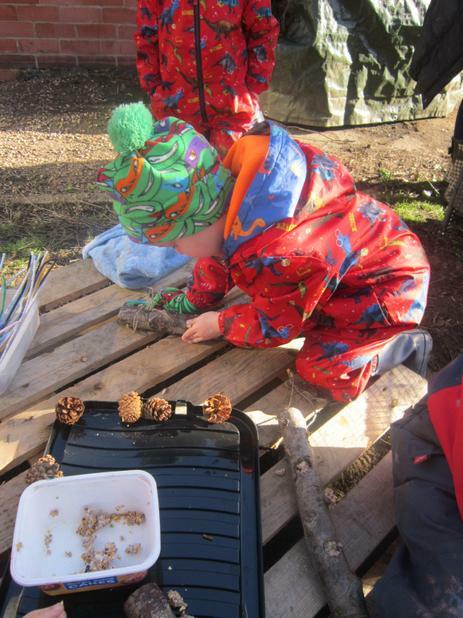 Forest school painting, making bird food and dough faces. 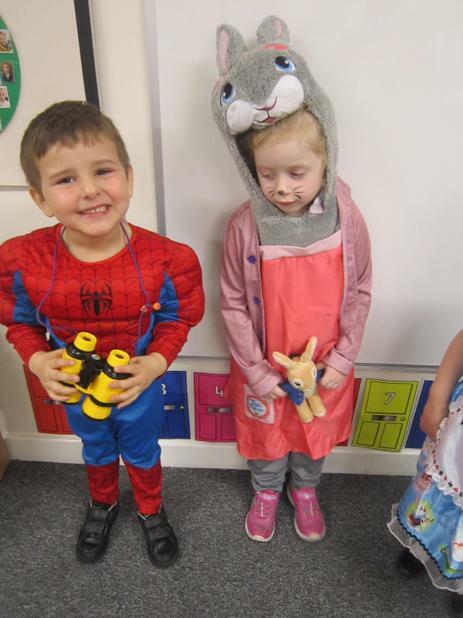 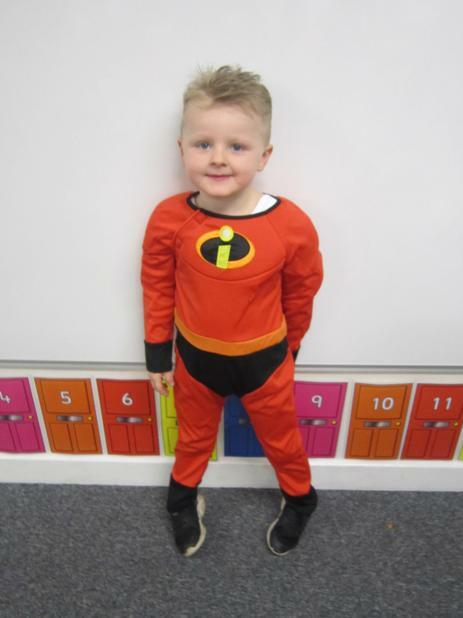 Our superheroes of the week for always following our school values. 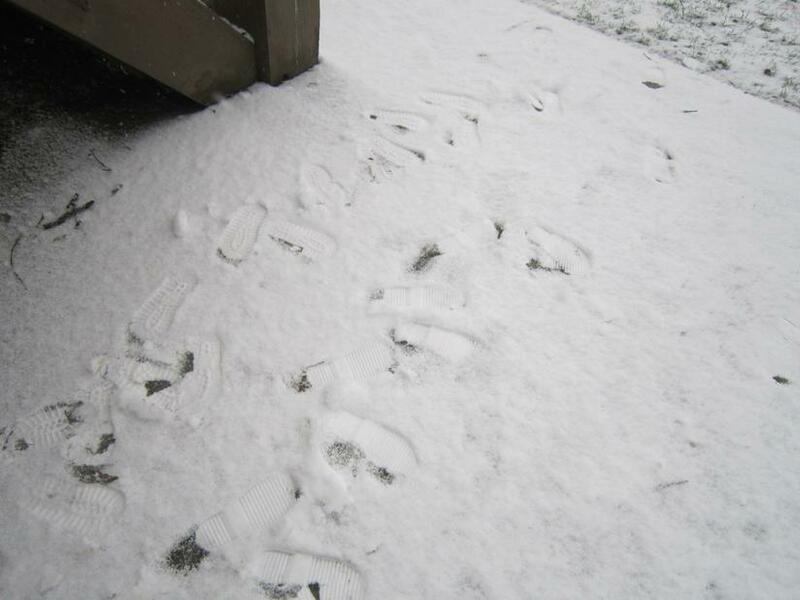 Our day and night exit. 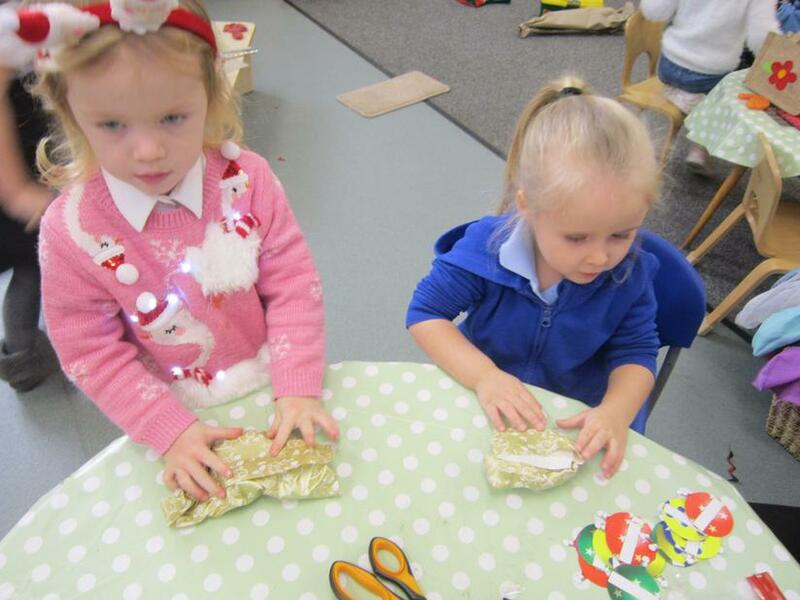 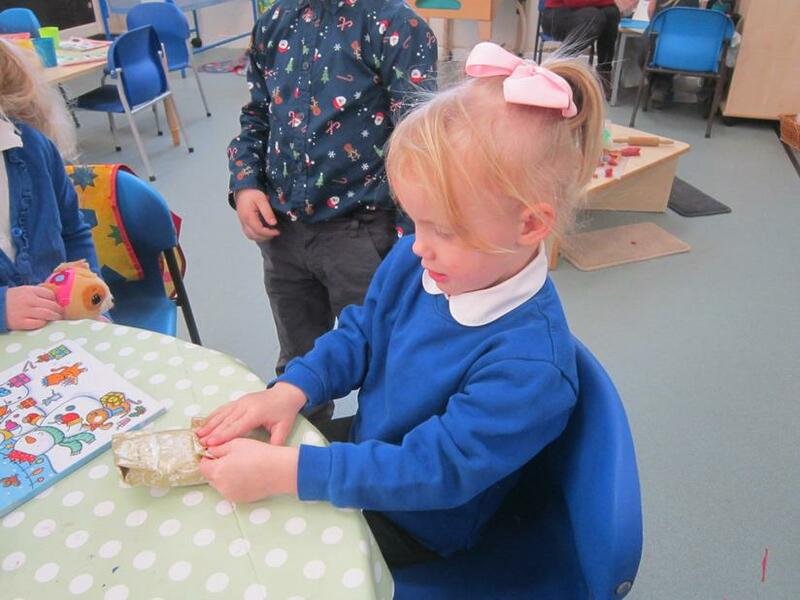 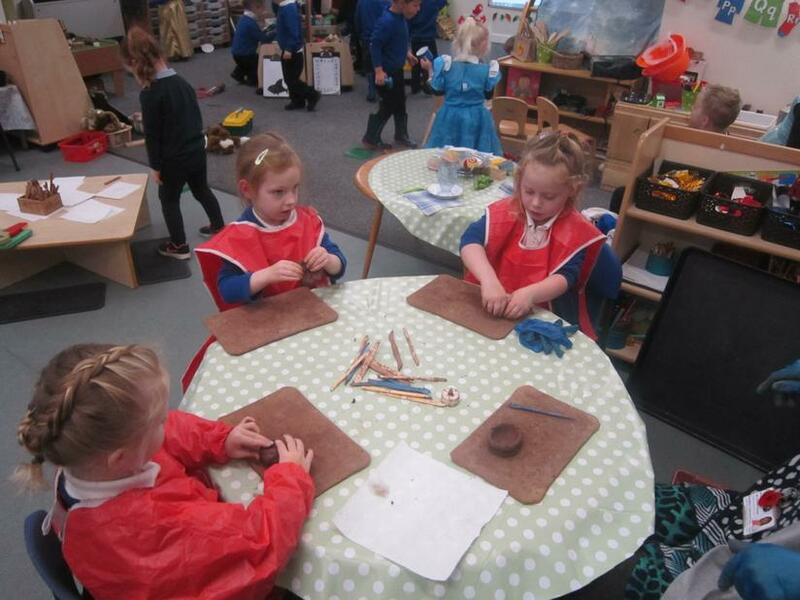 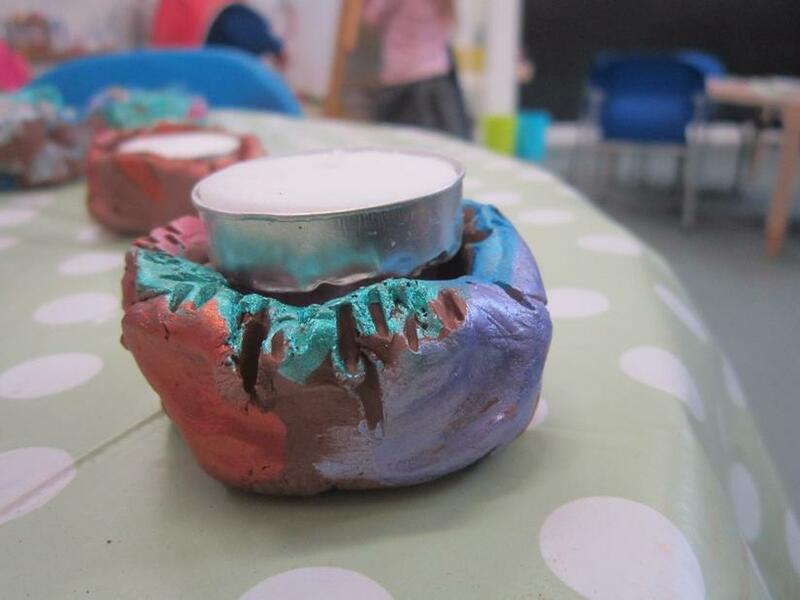 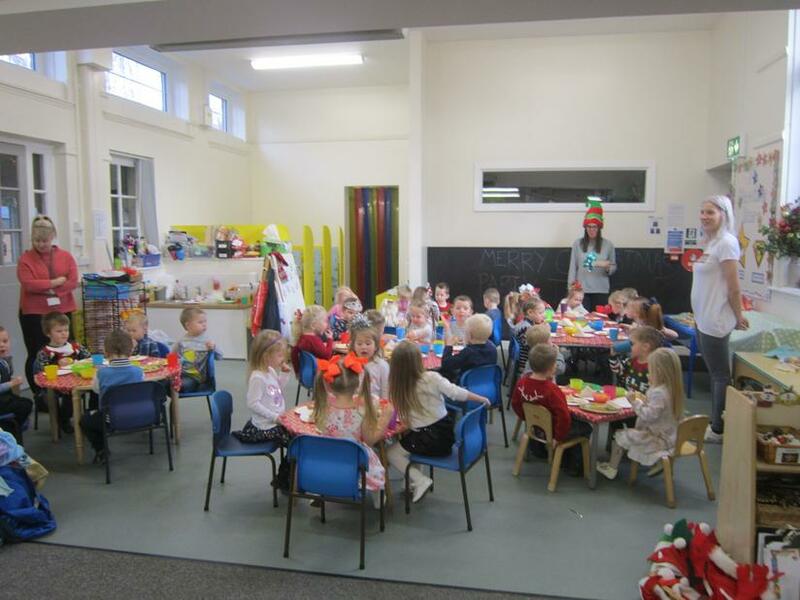 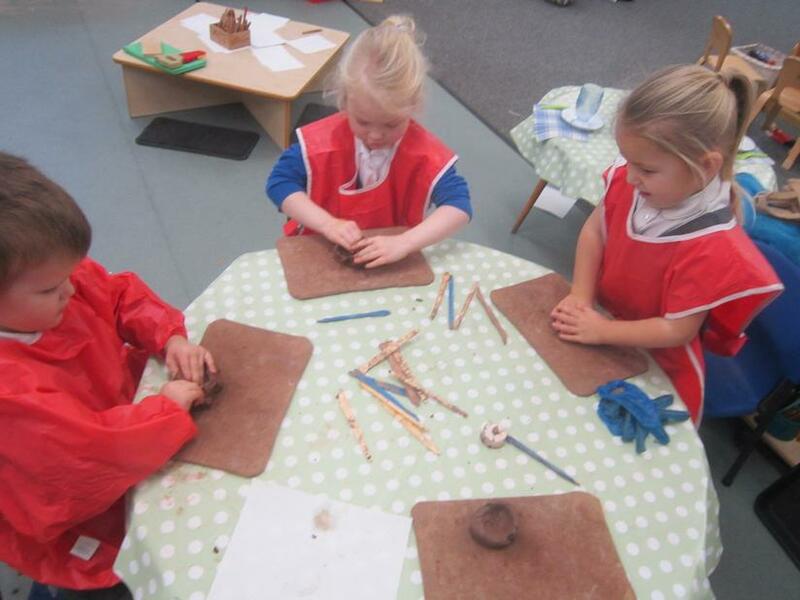 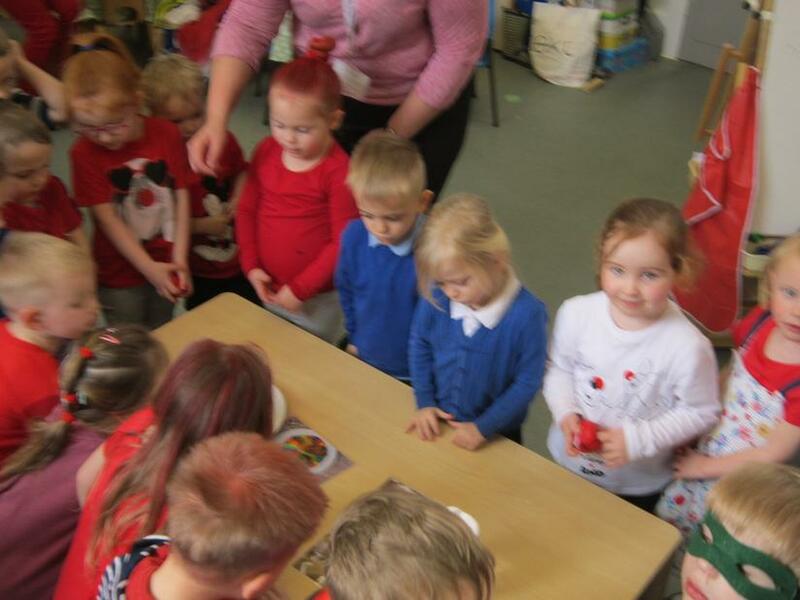 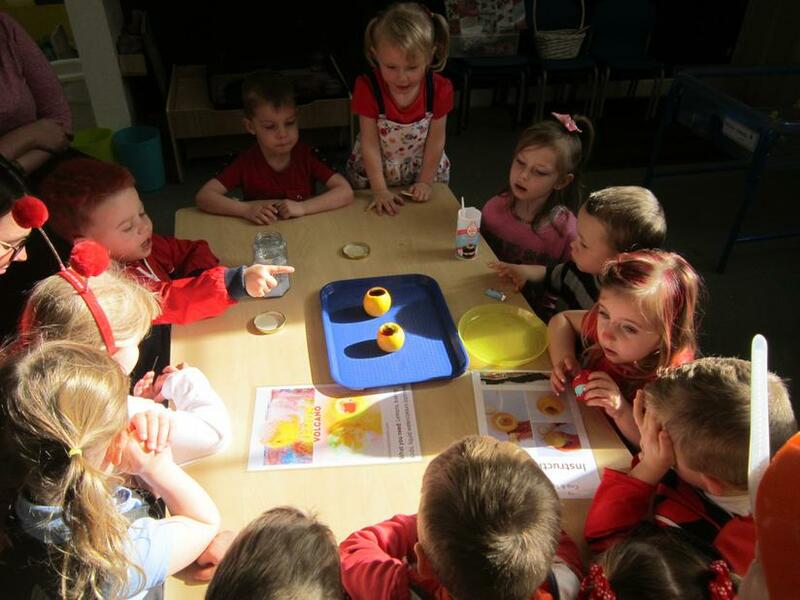 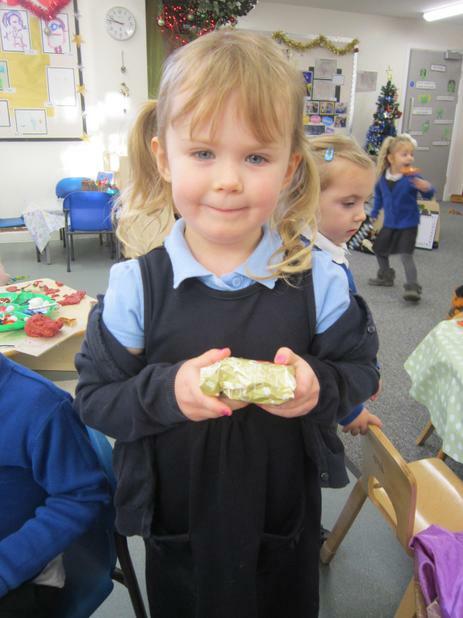 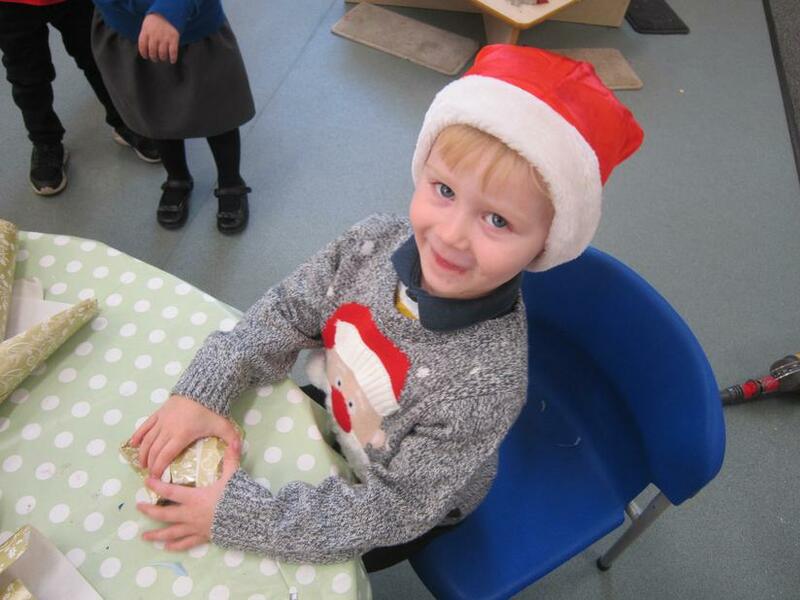 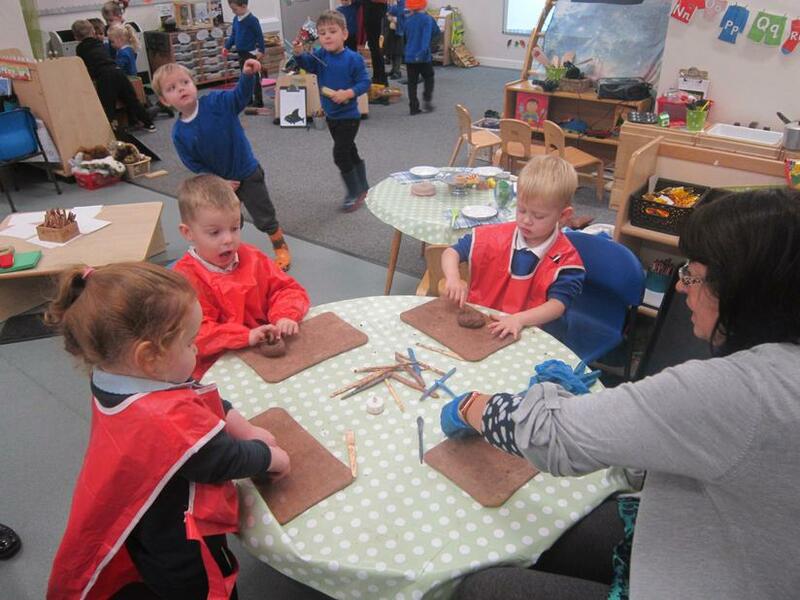 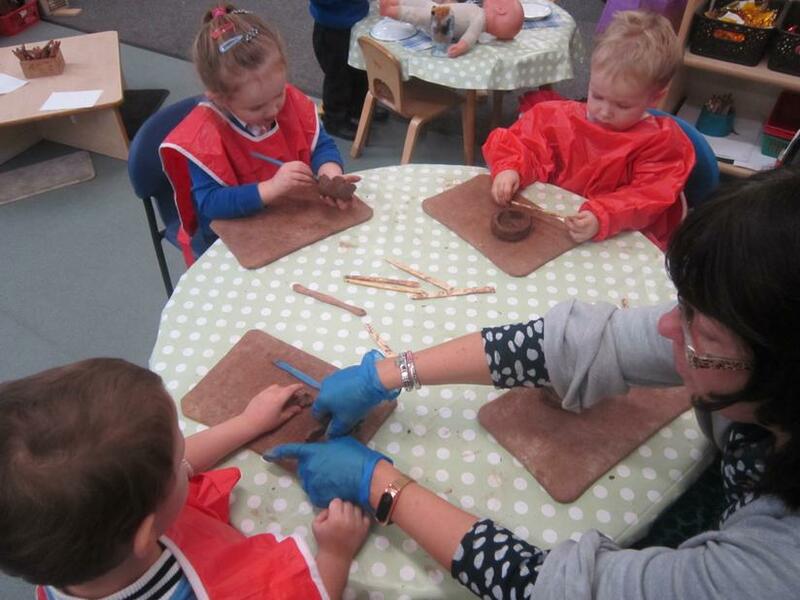 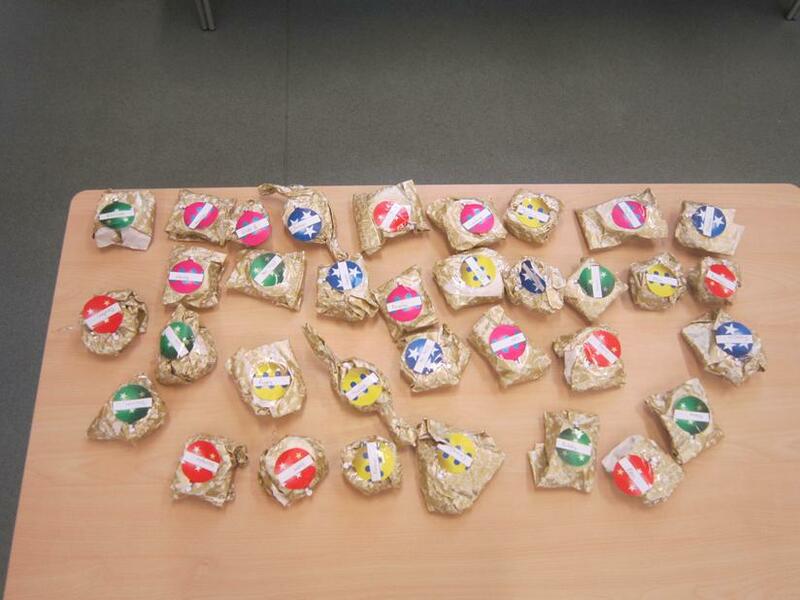 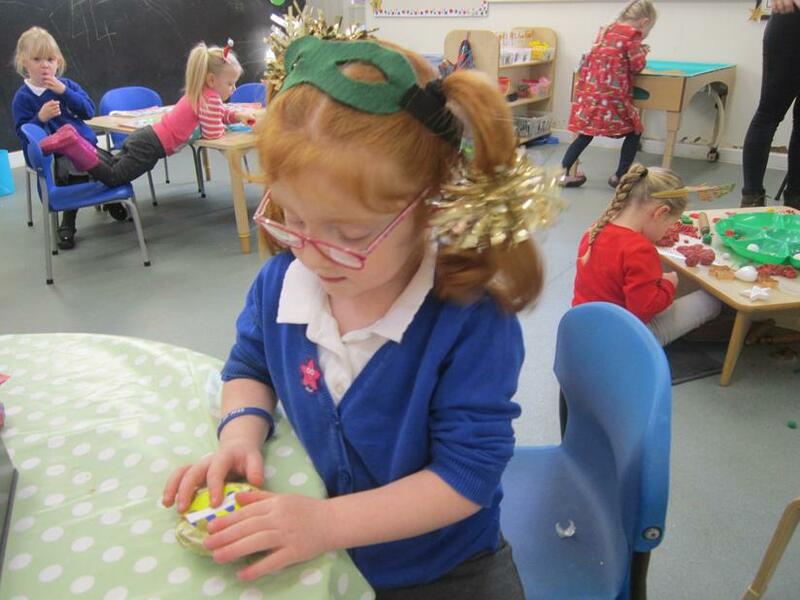 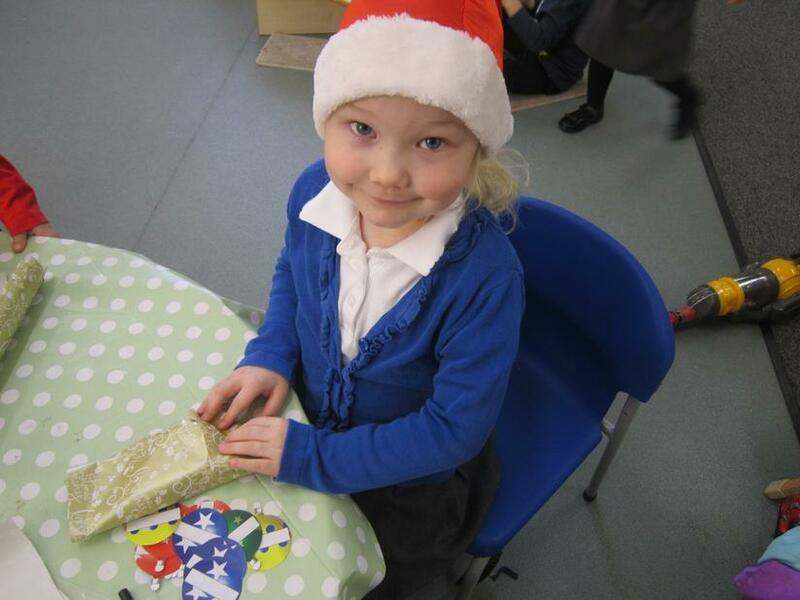 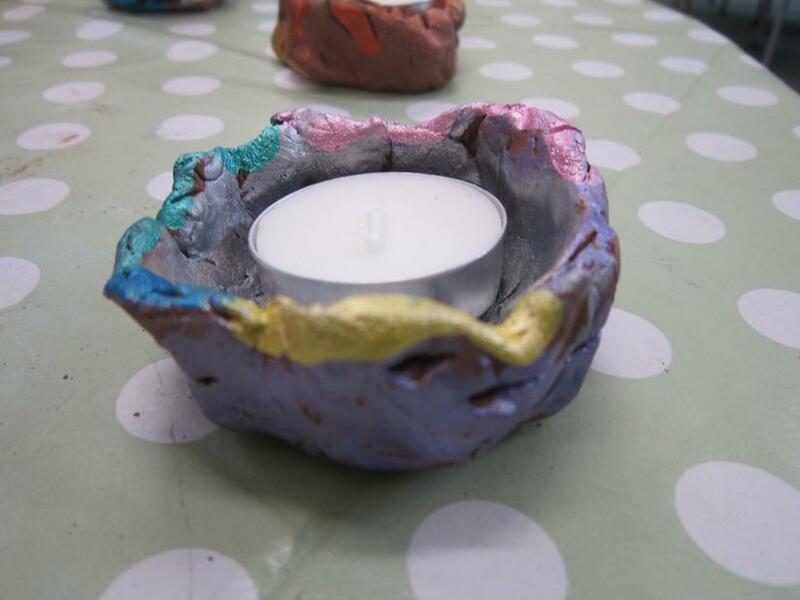 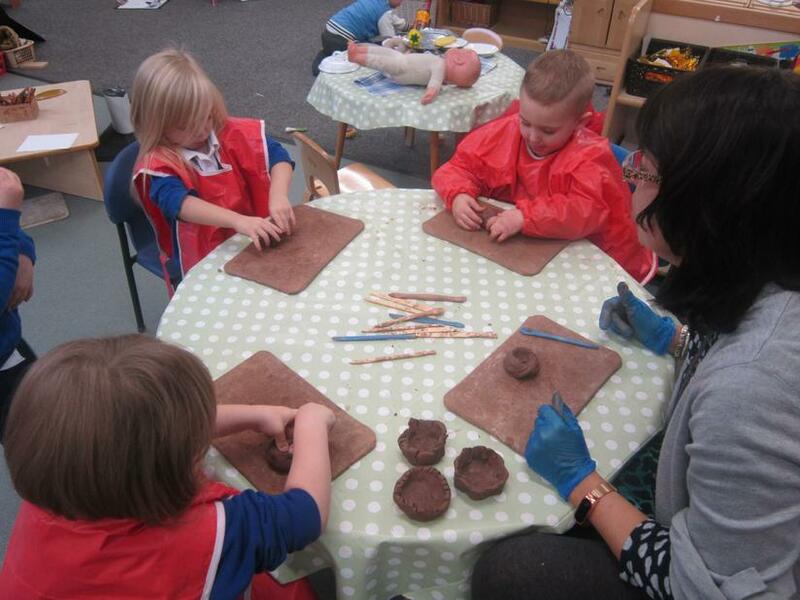 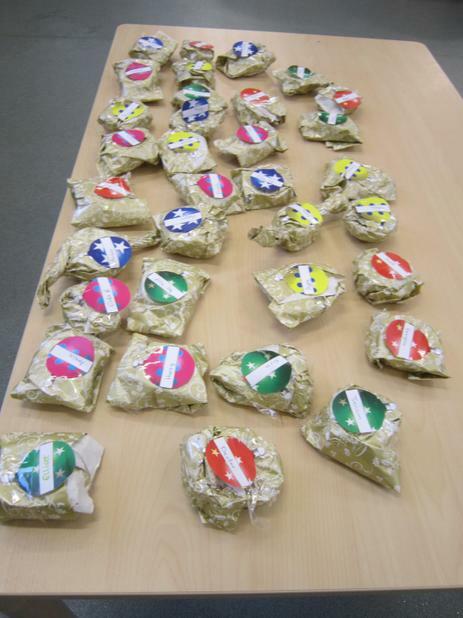 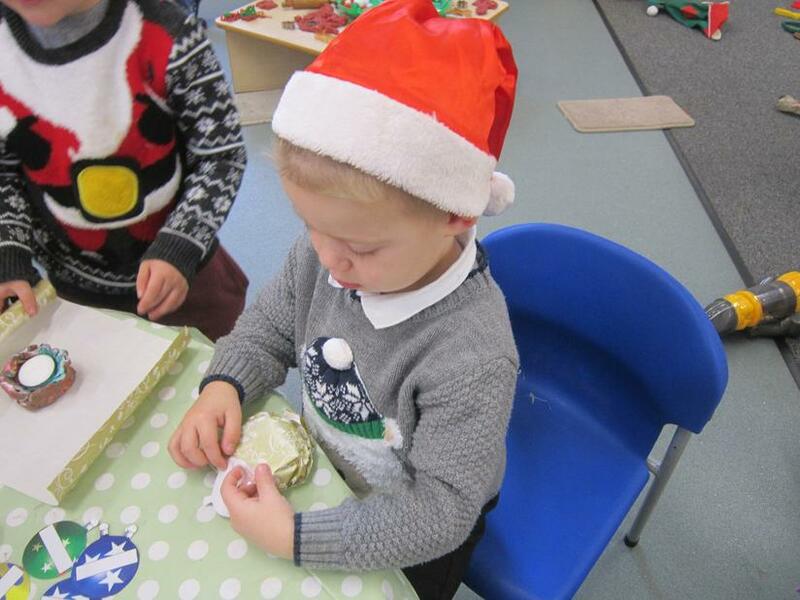 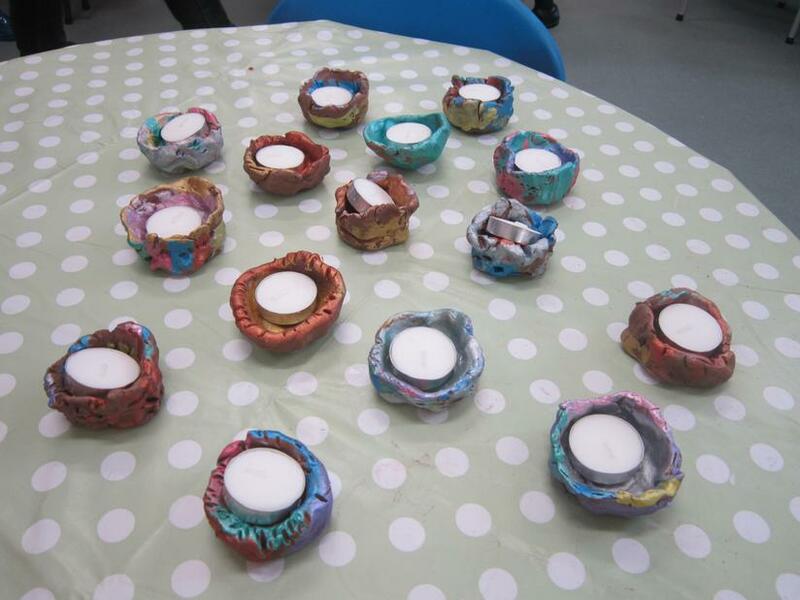 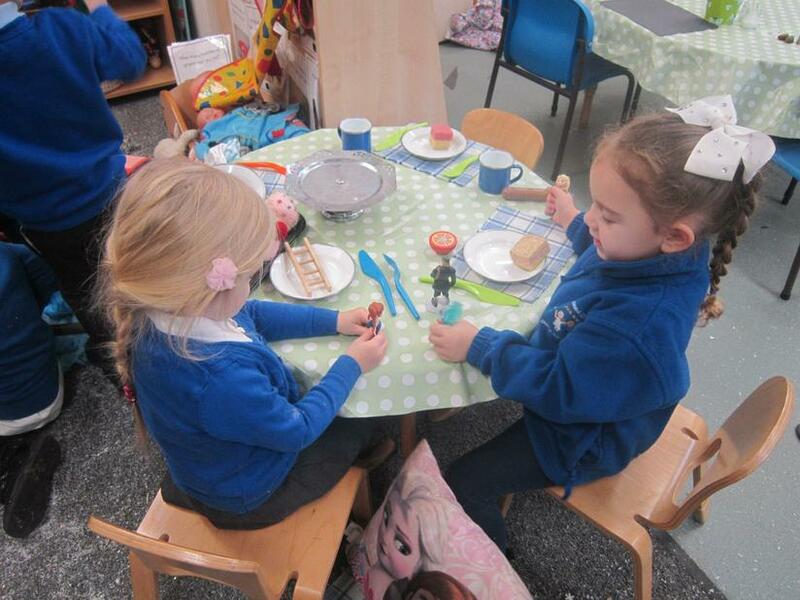 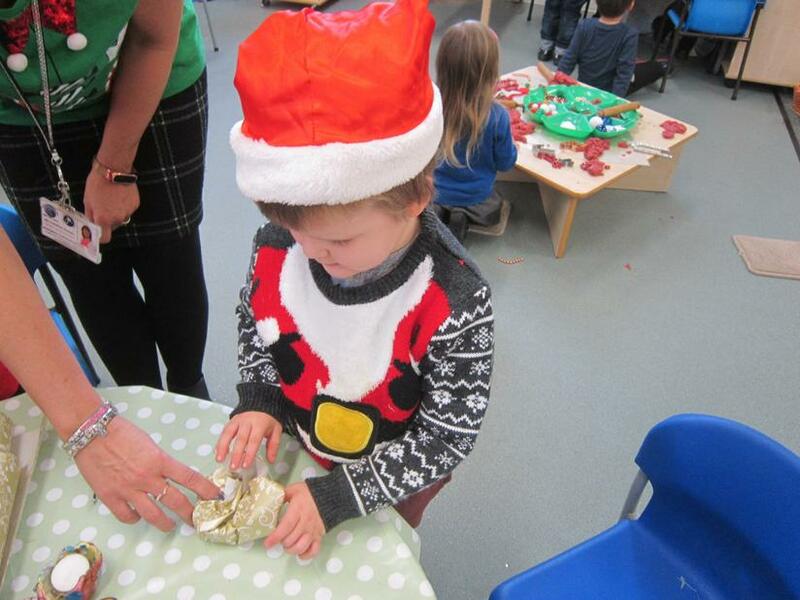 The children made tea light holders from clay, painted them and wrapped them.